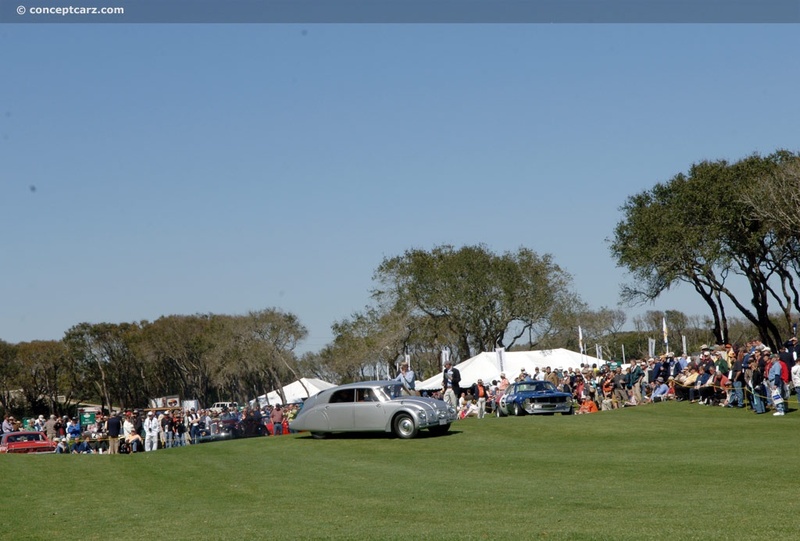 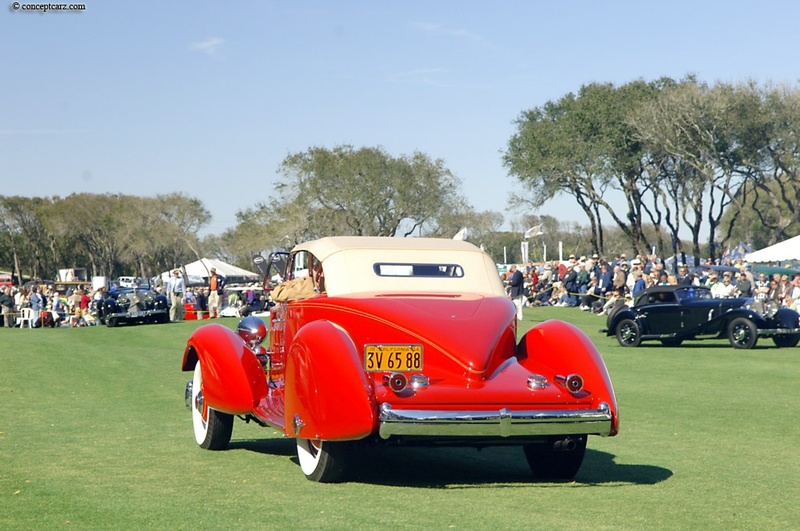 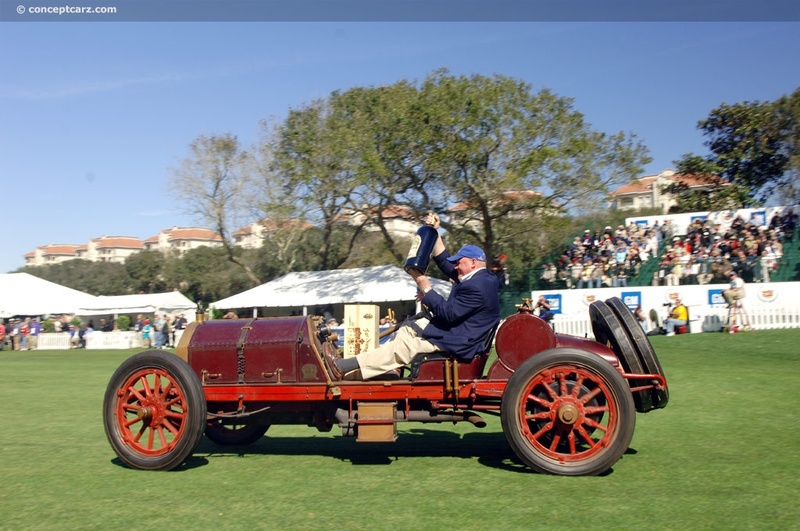 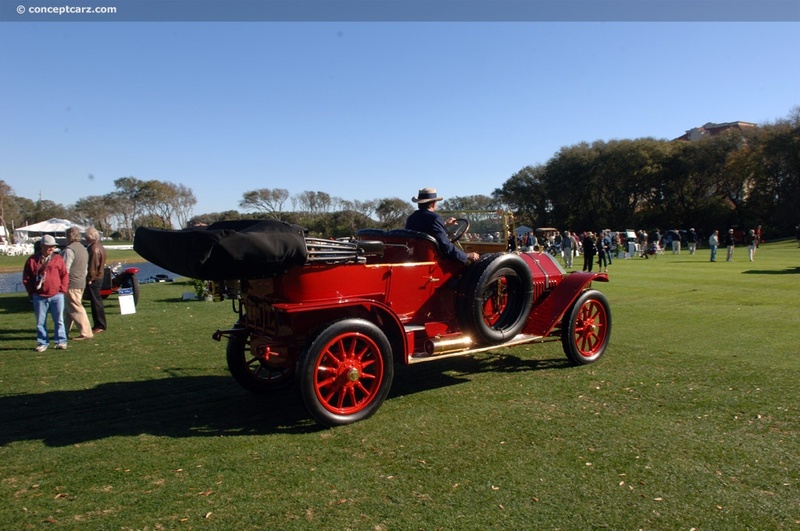 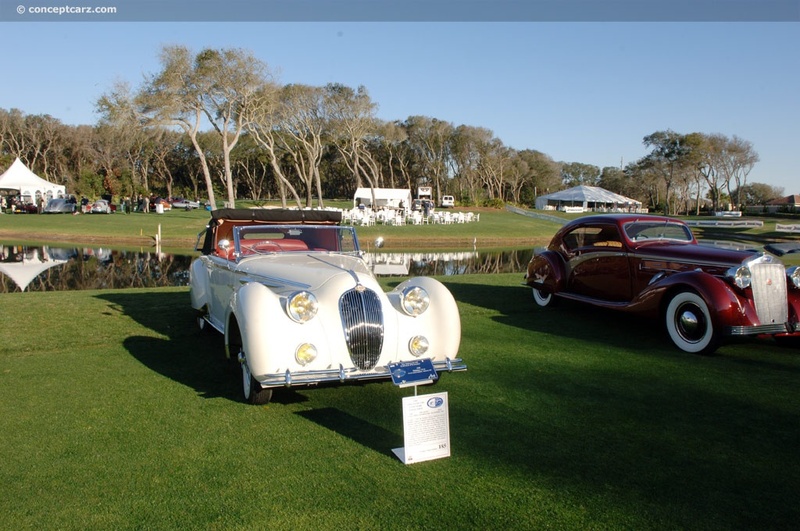 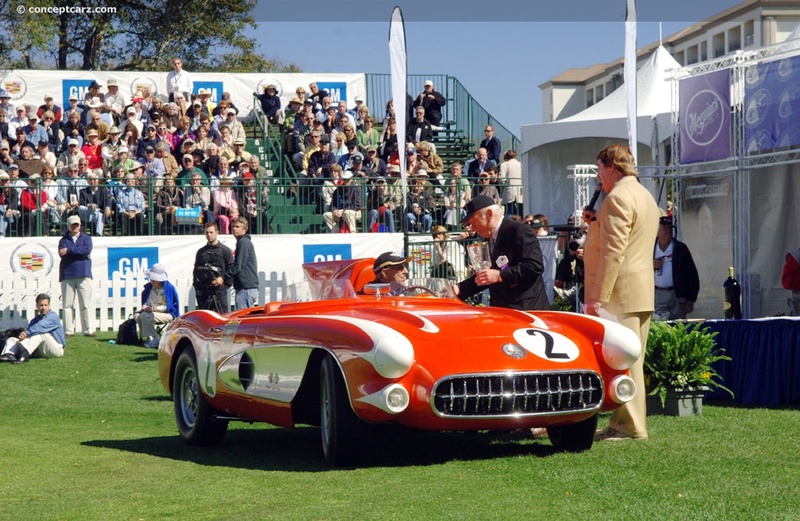 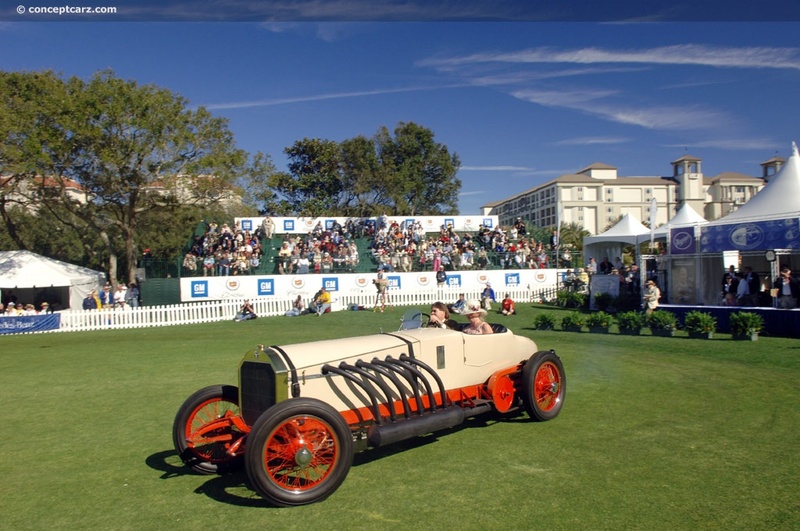 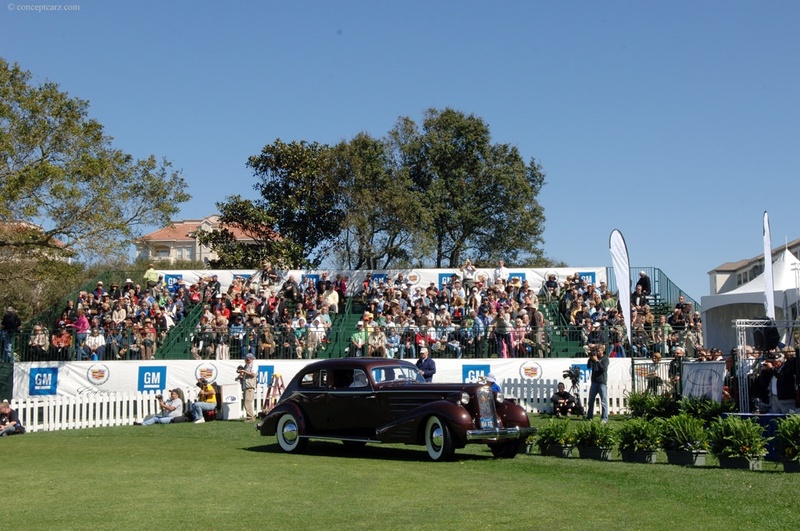 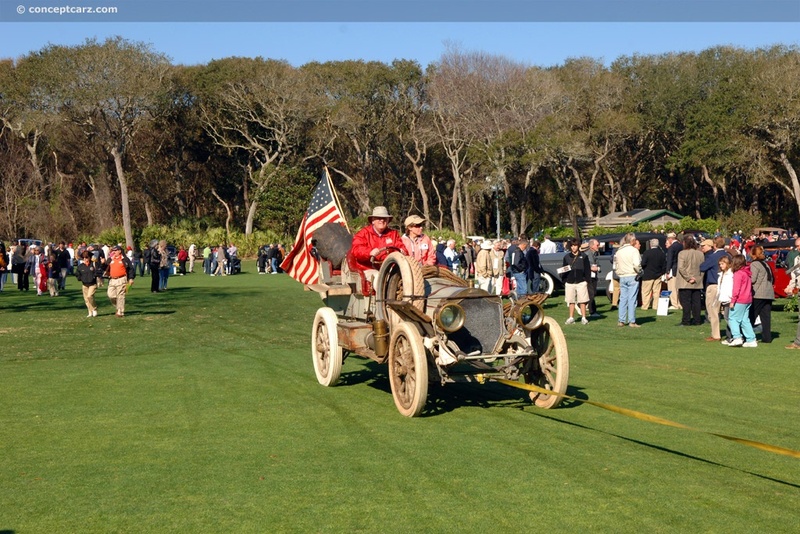 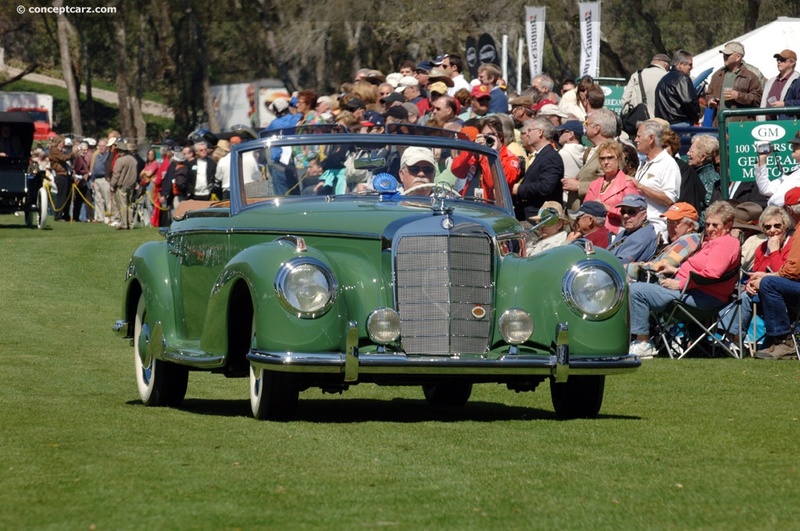 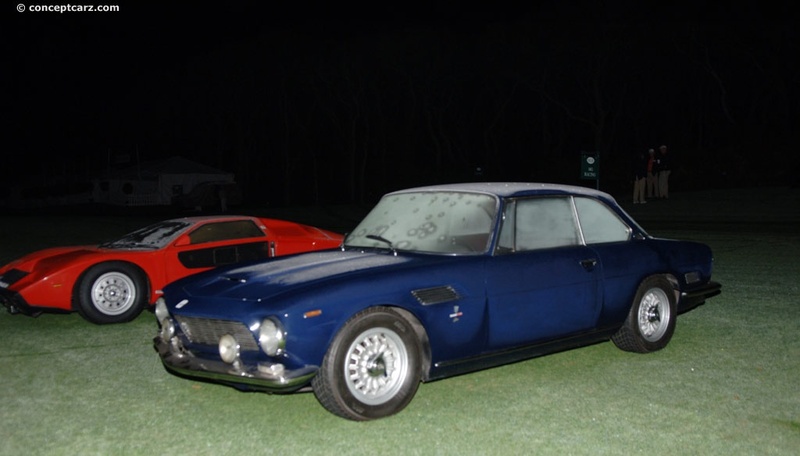 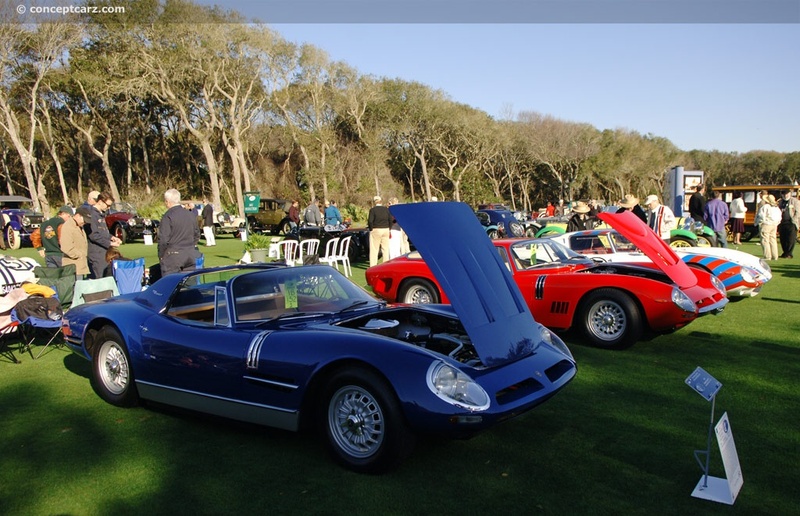 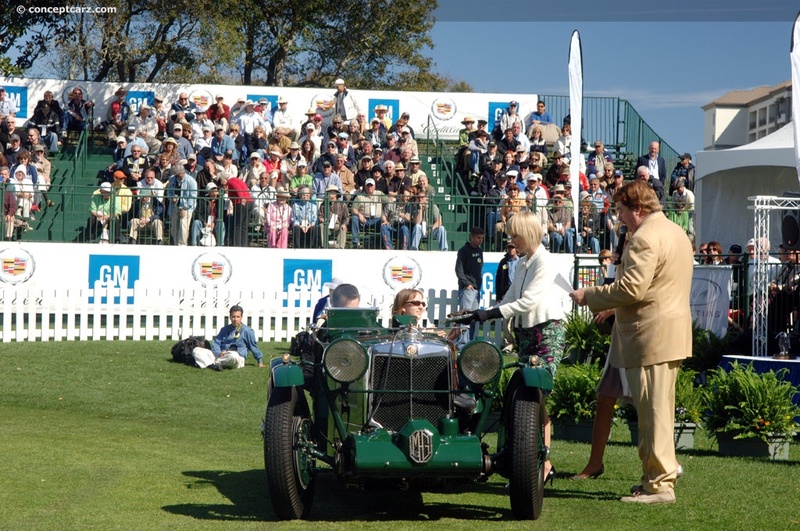 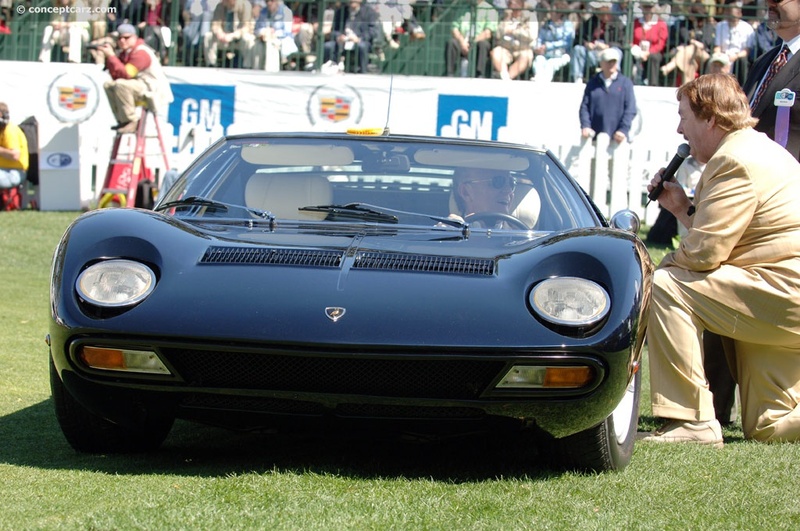 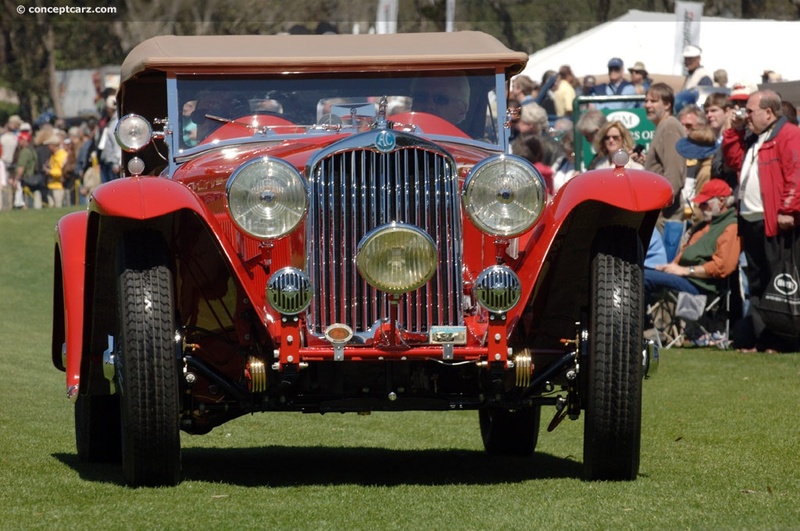 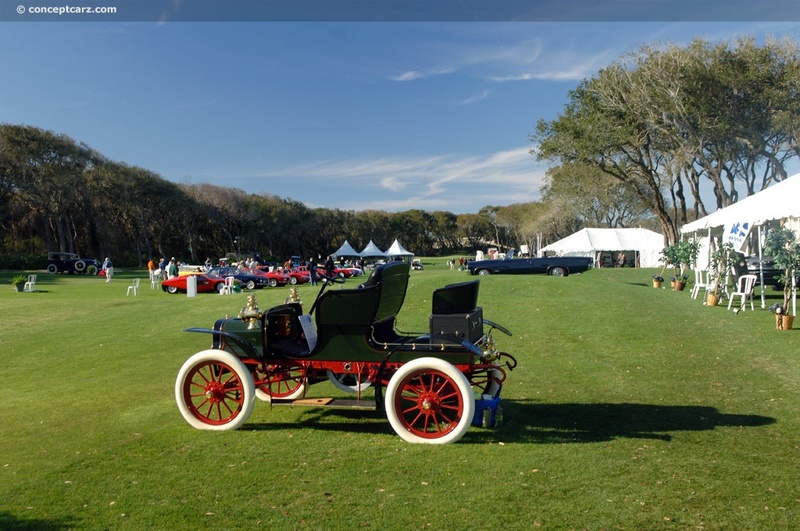 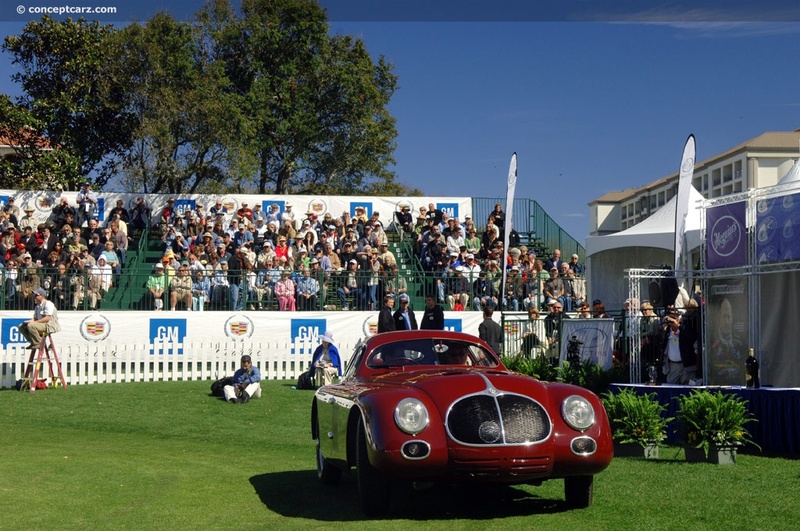 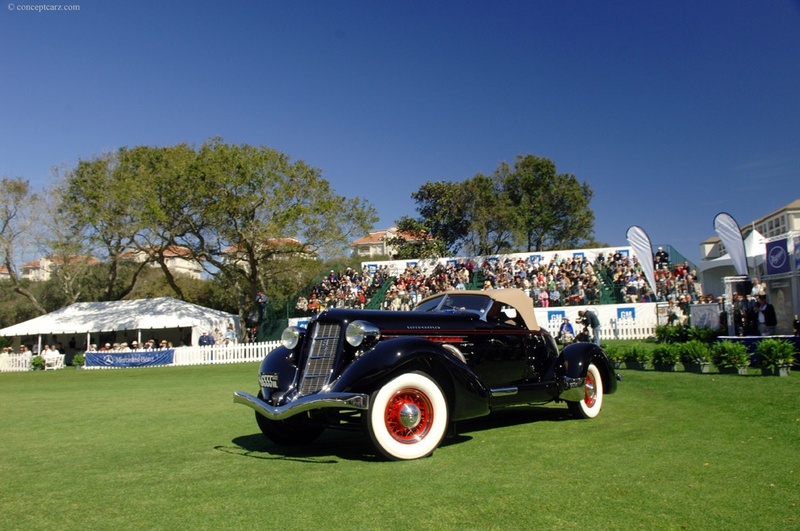 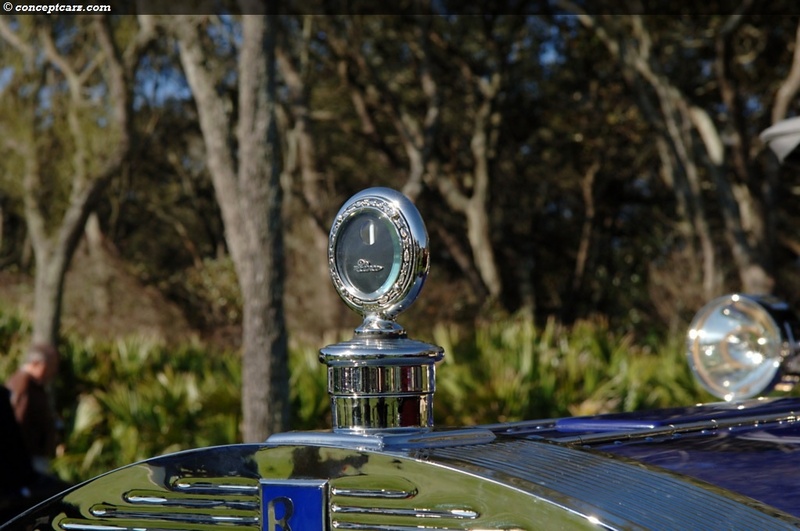 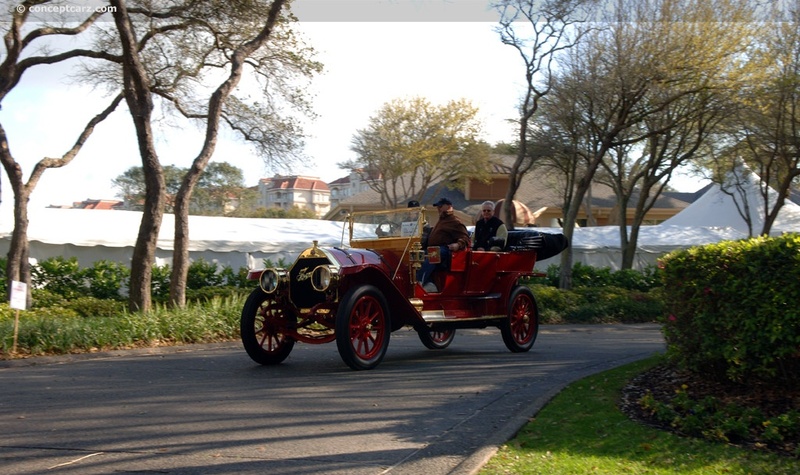 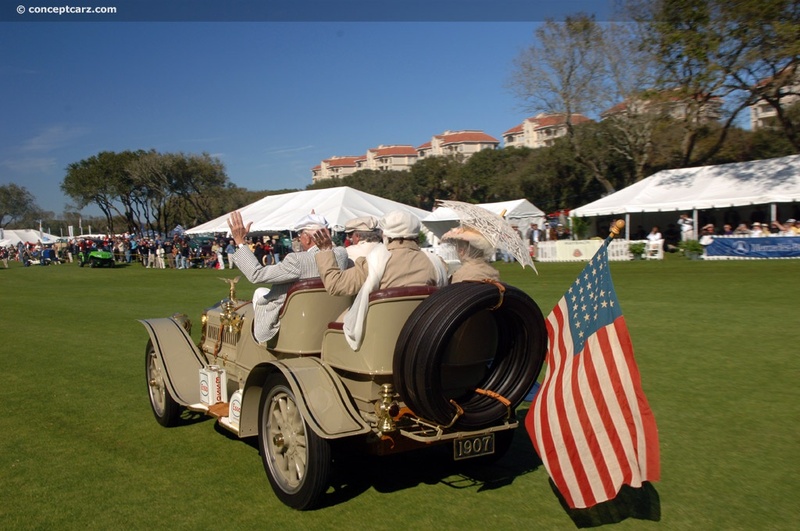 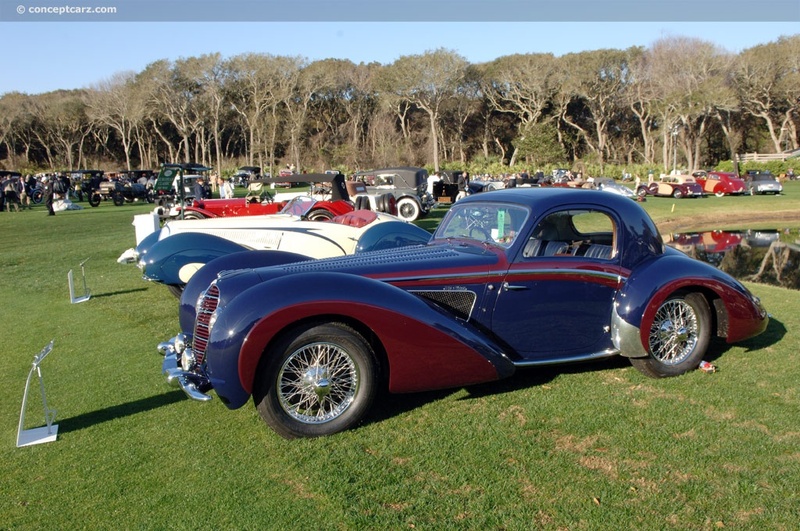 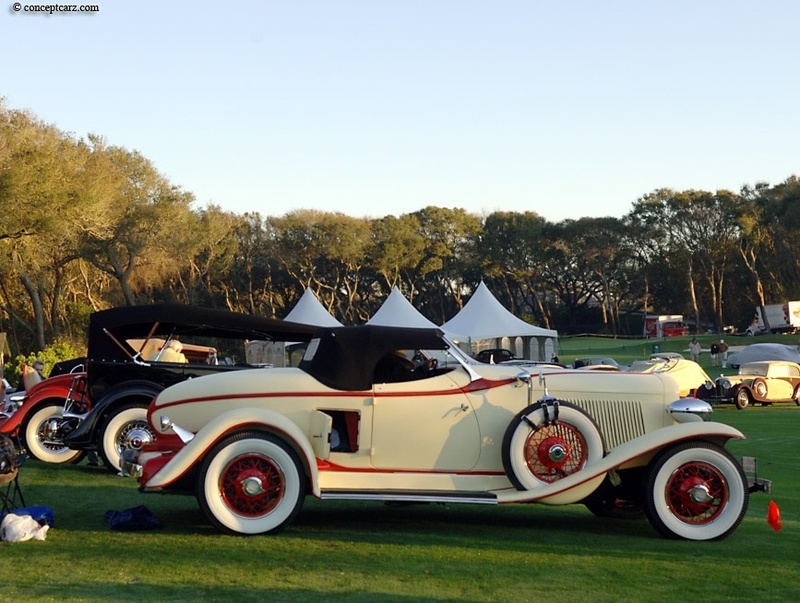 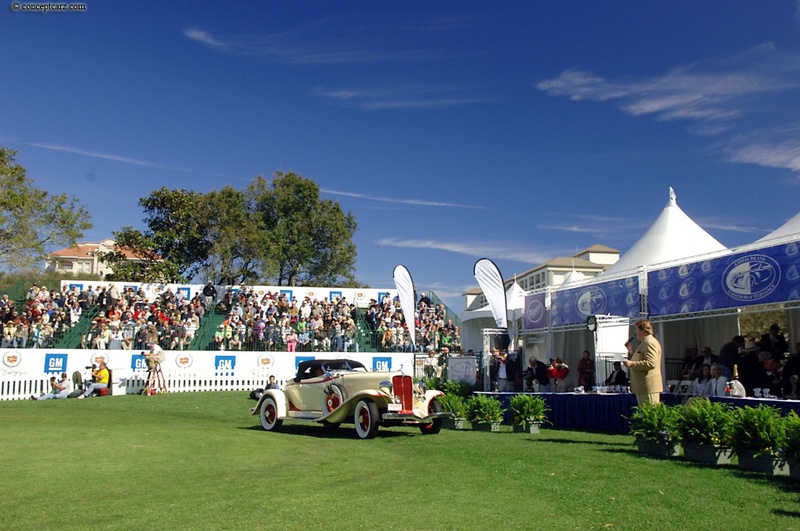 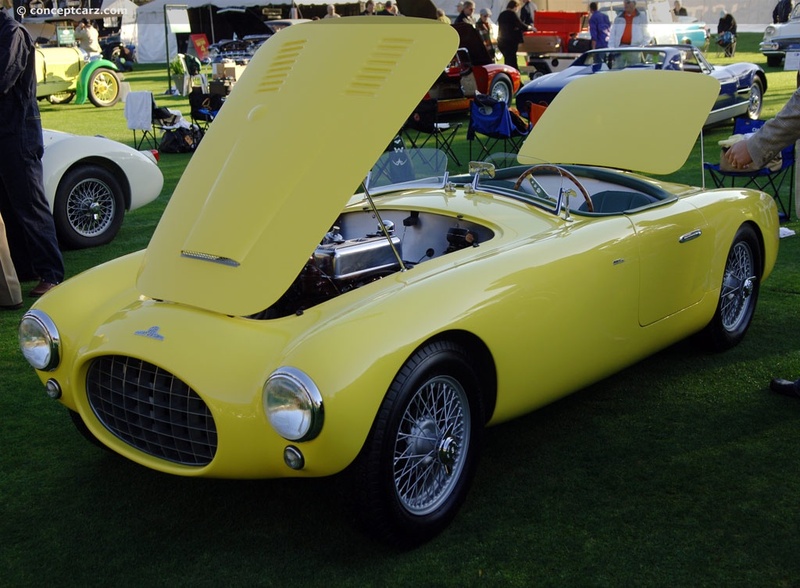 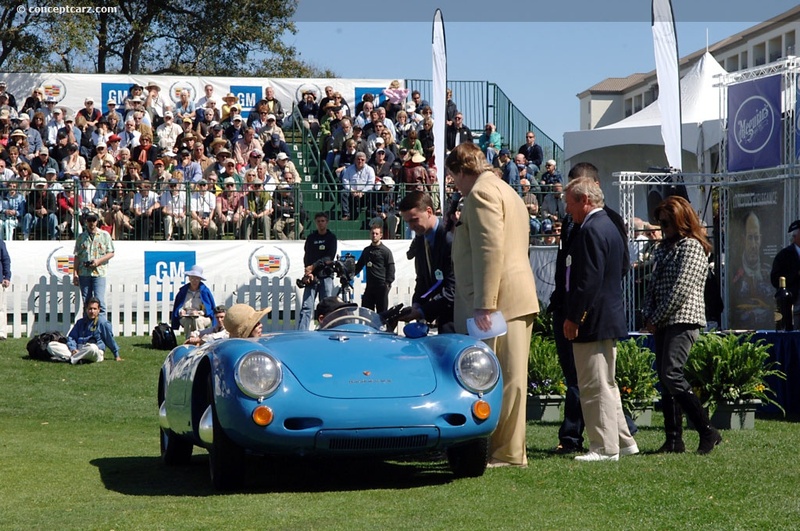 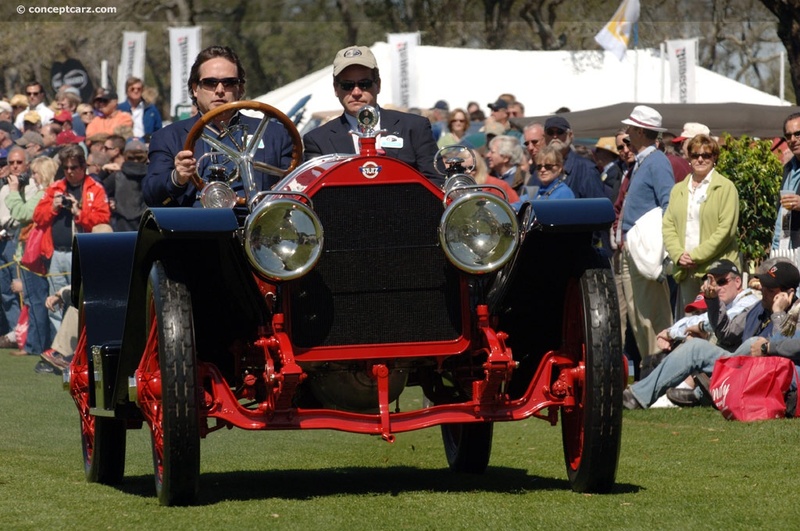 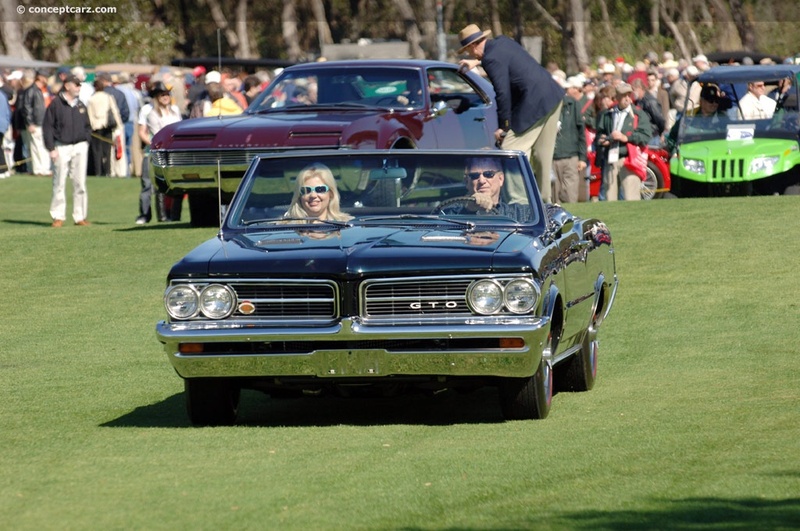 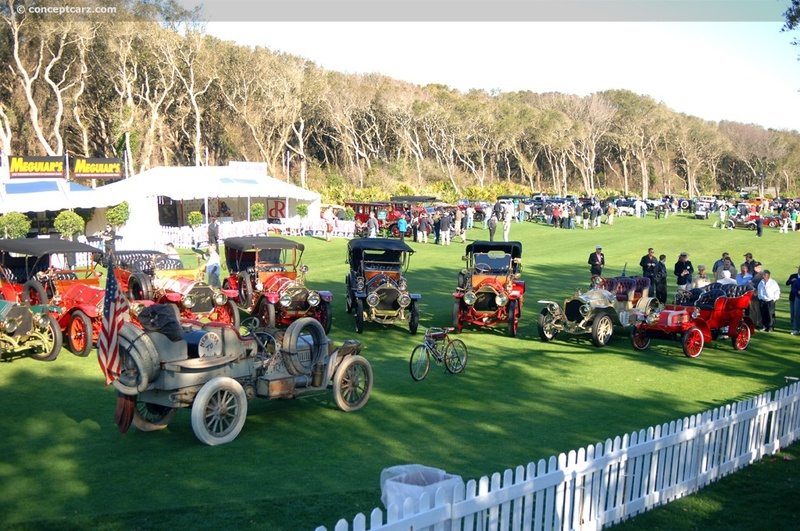 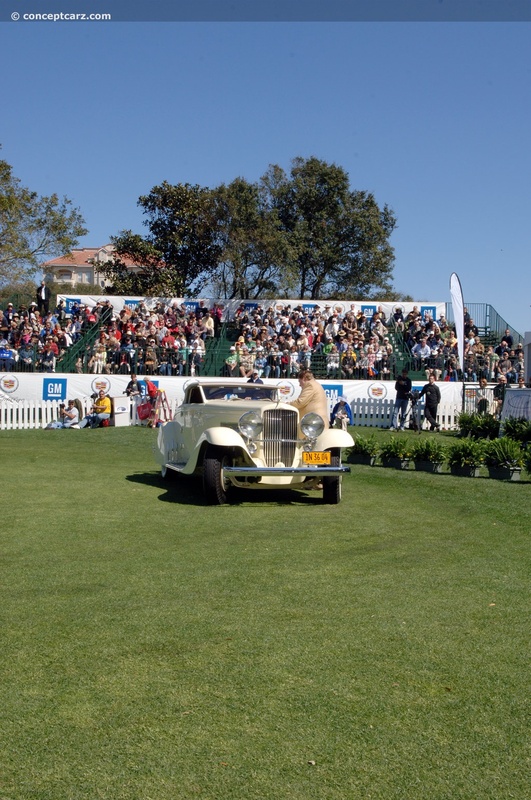 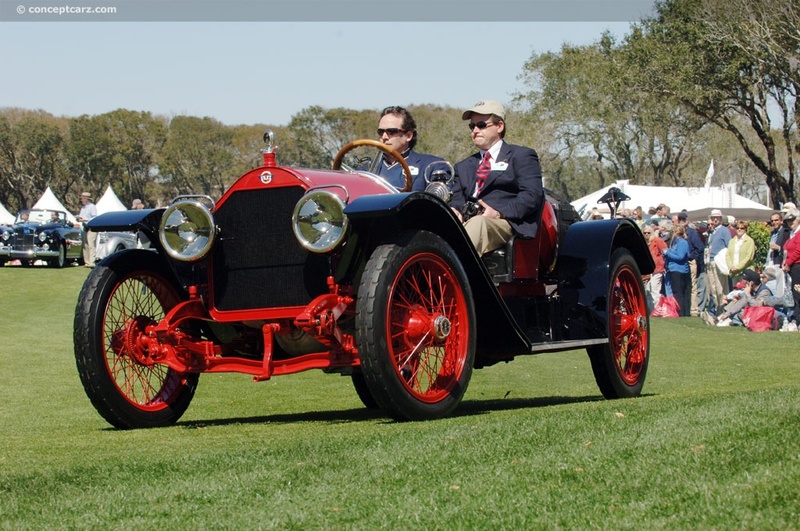 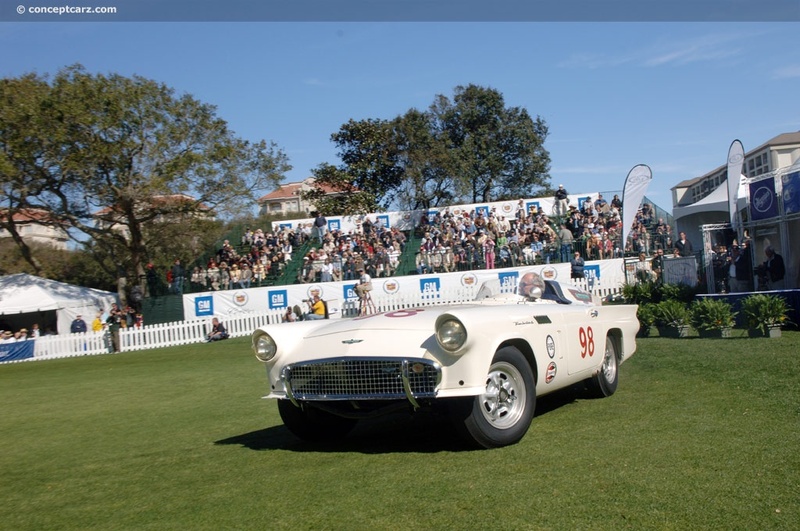 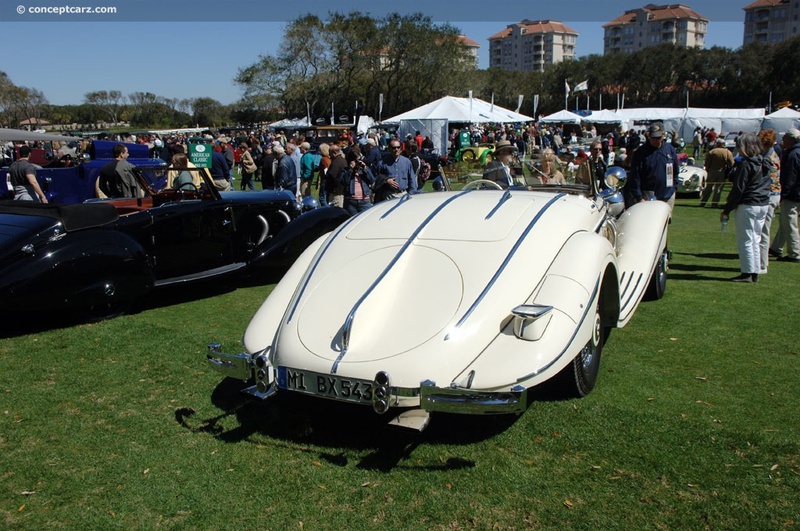 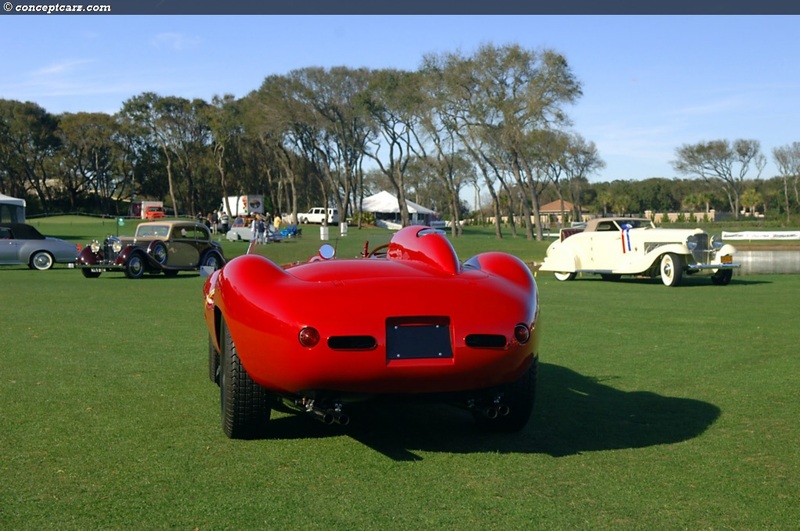 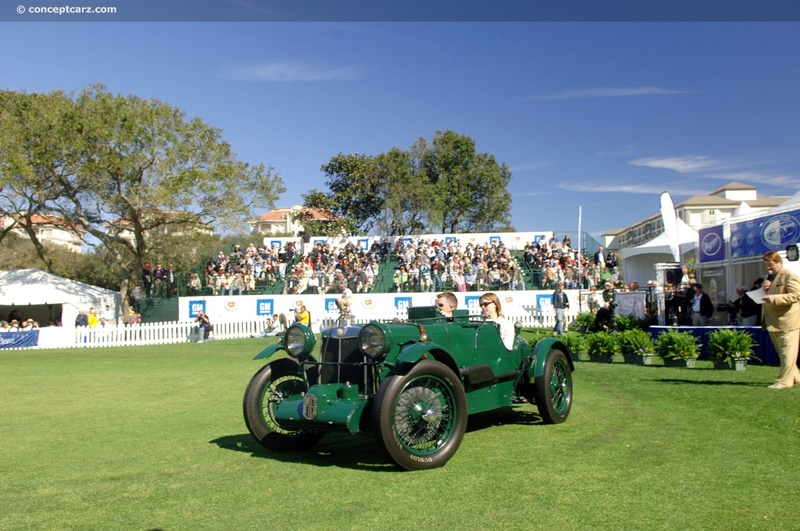 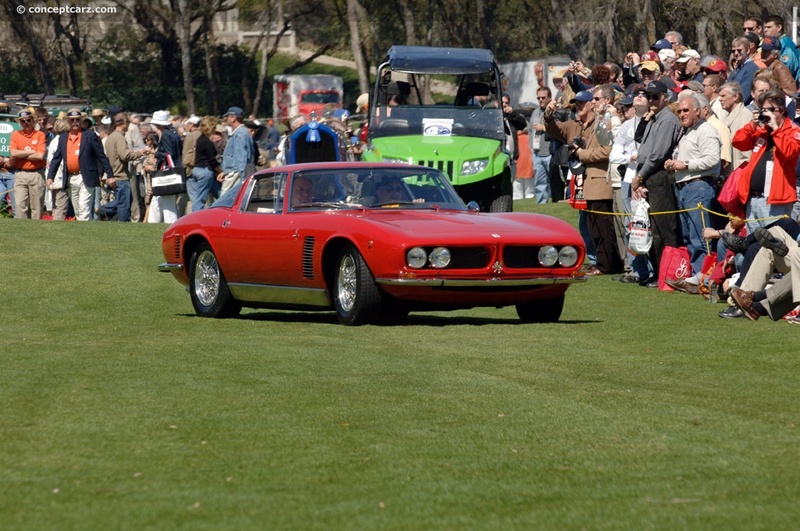 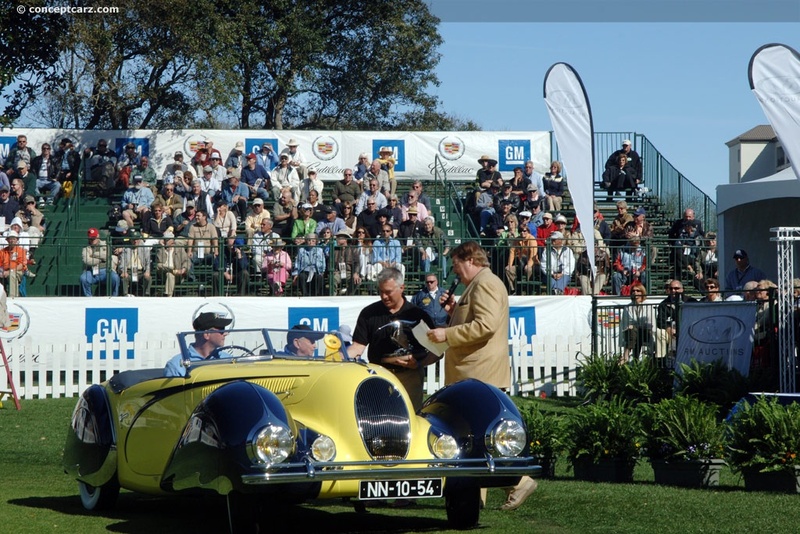 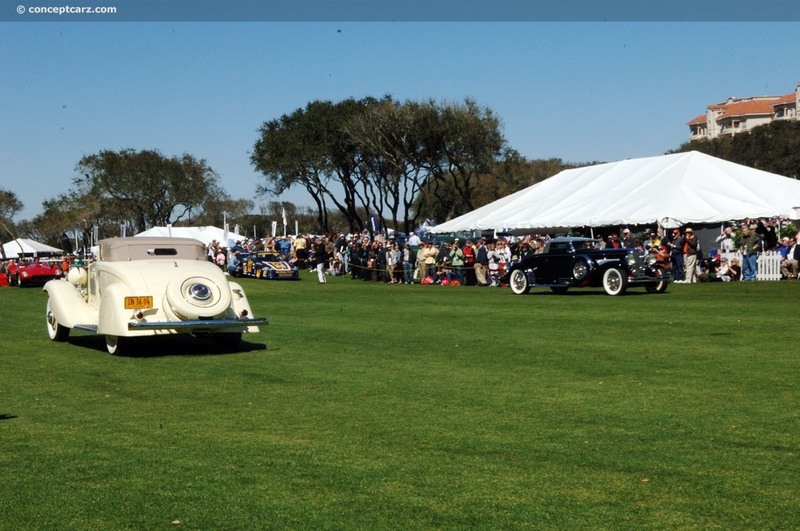 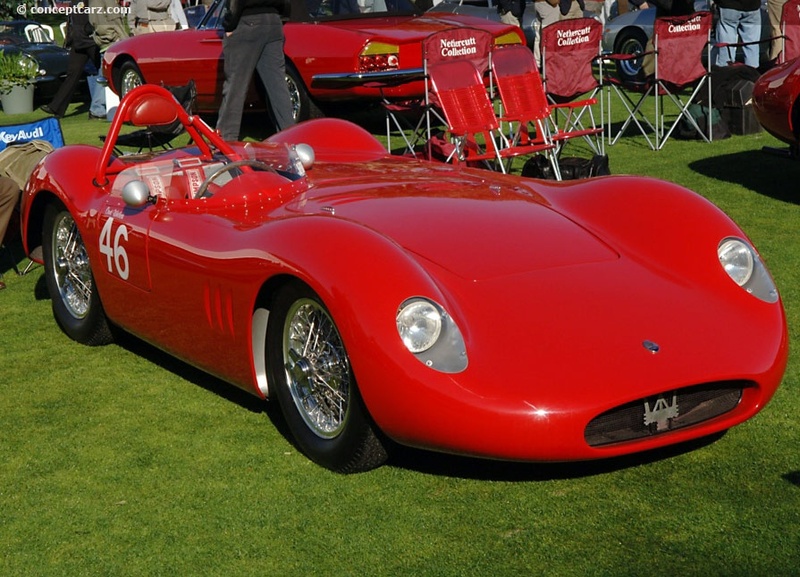 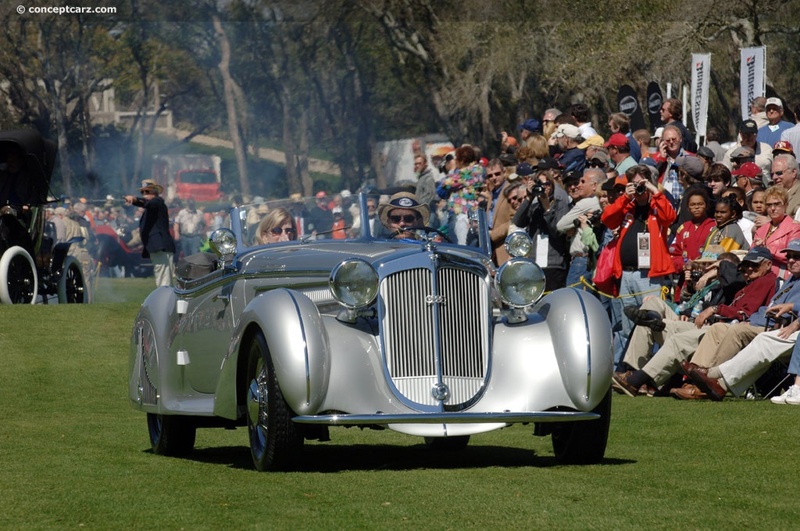 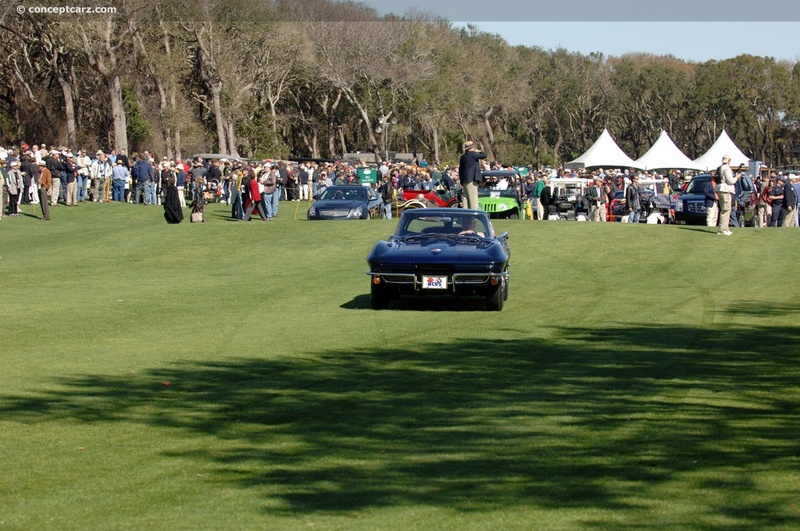 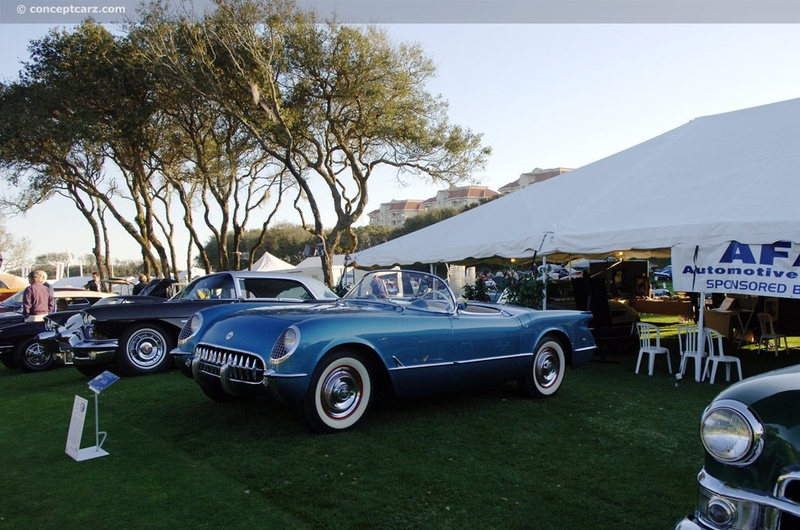 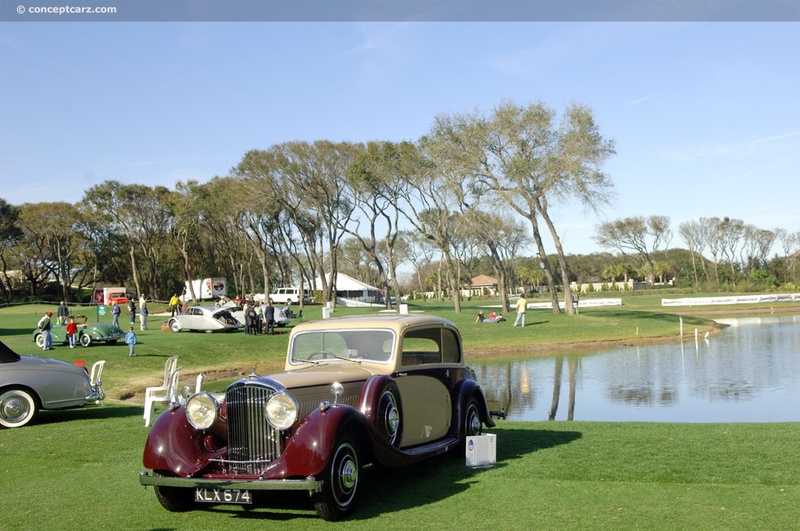 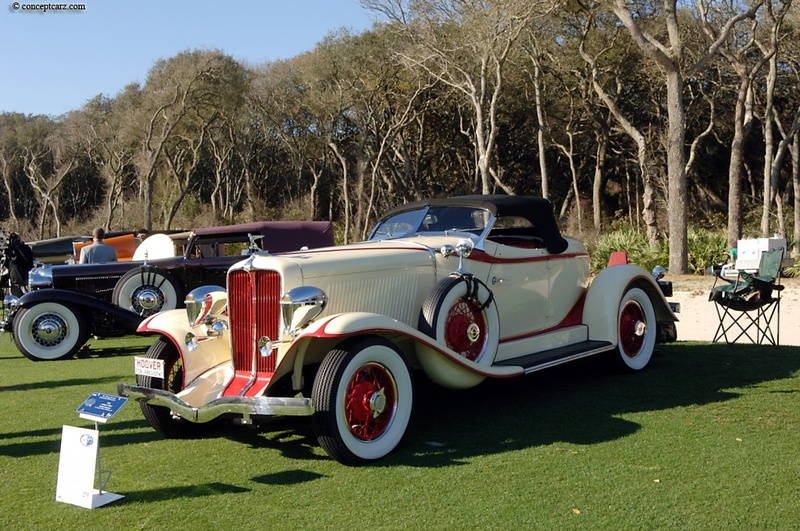 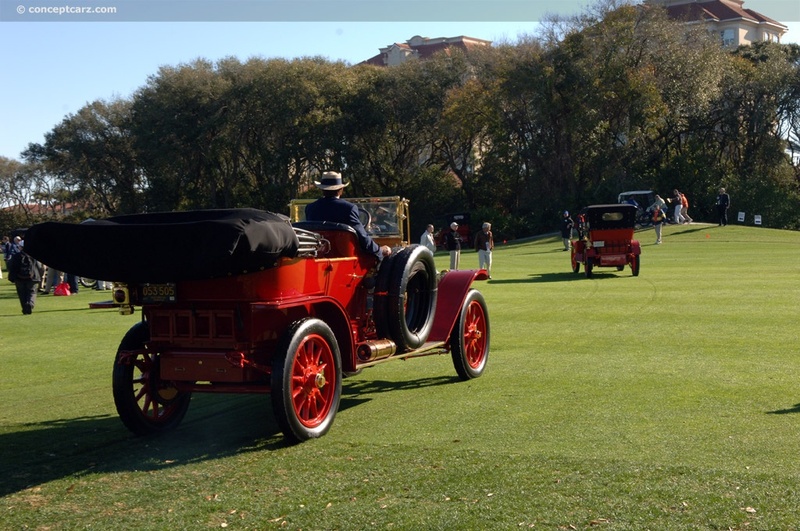 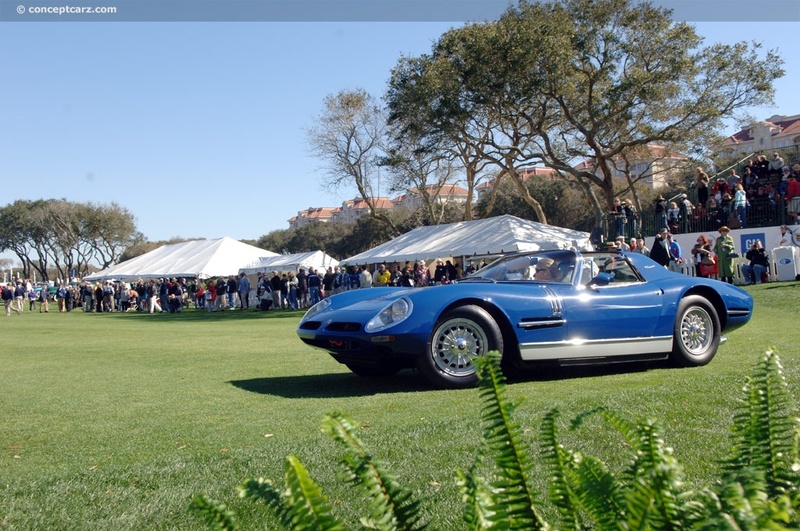 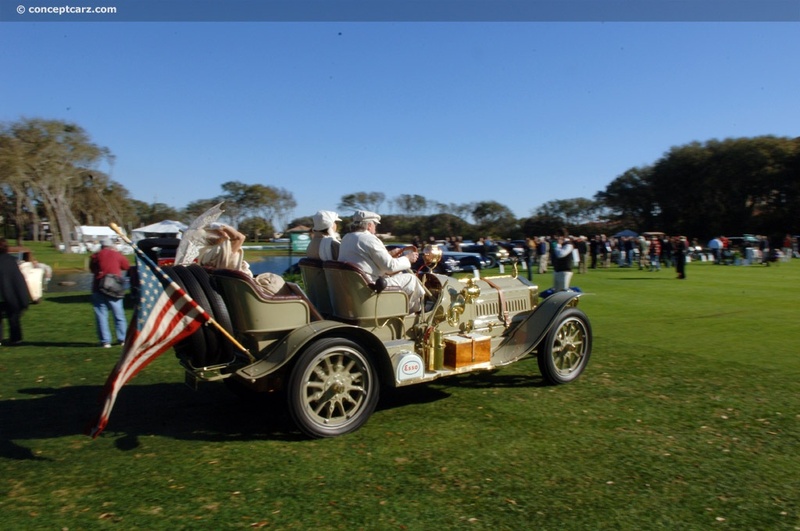 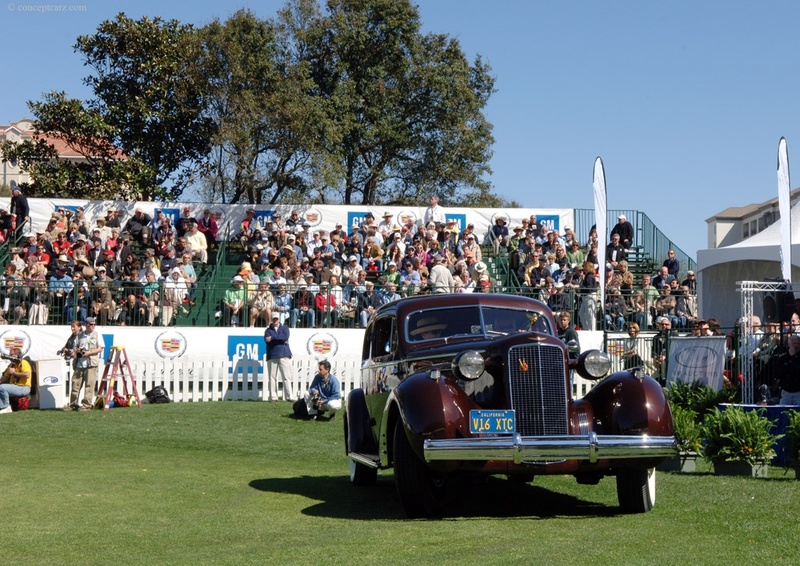 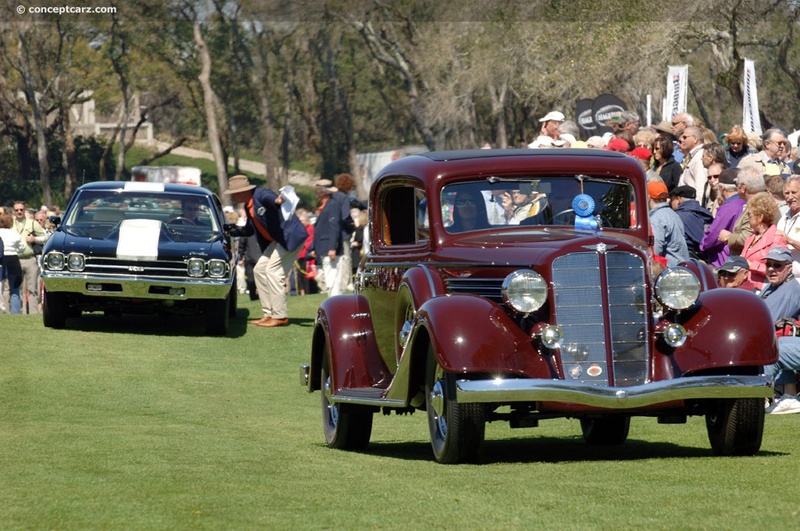 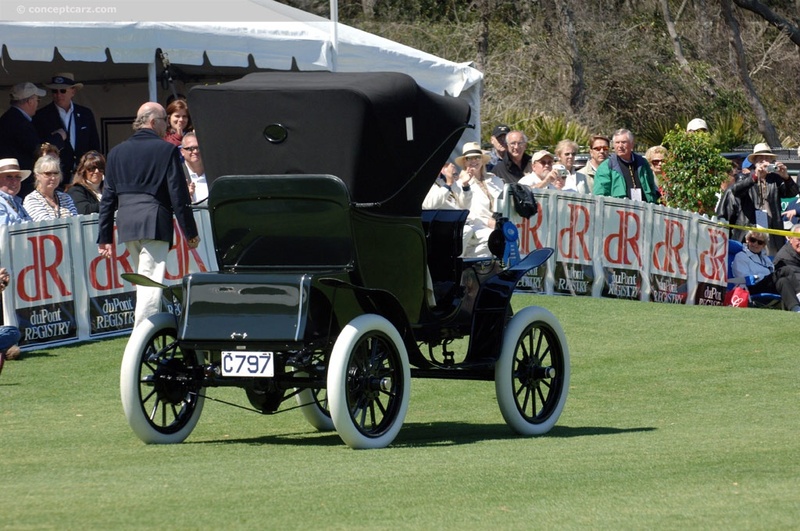 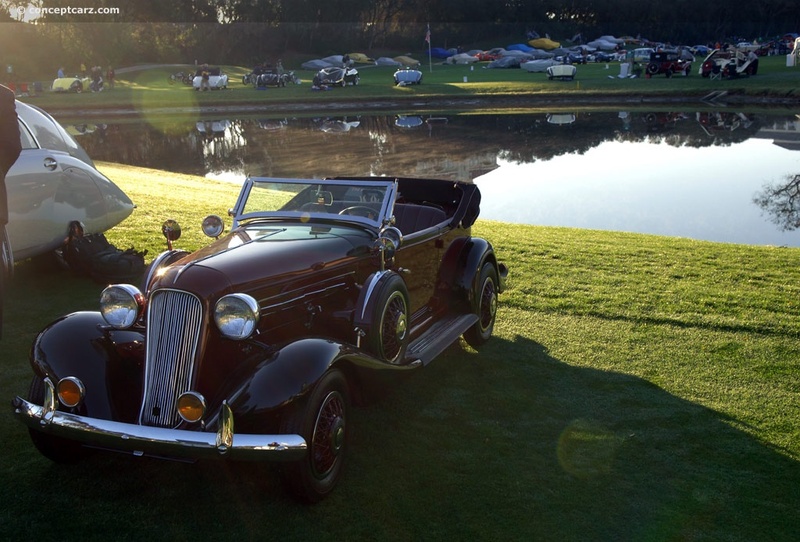 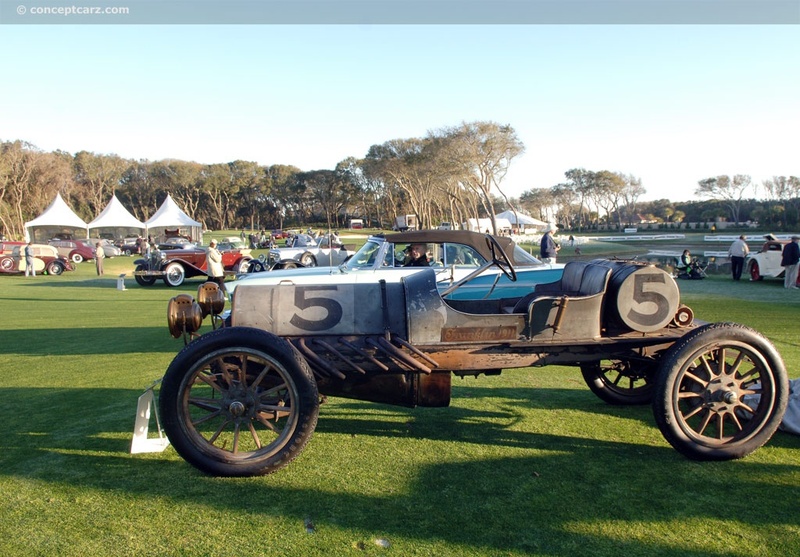 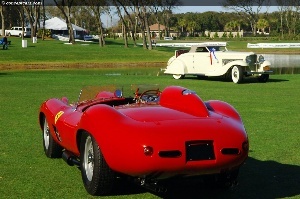 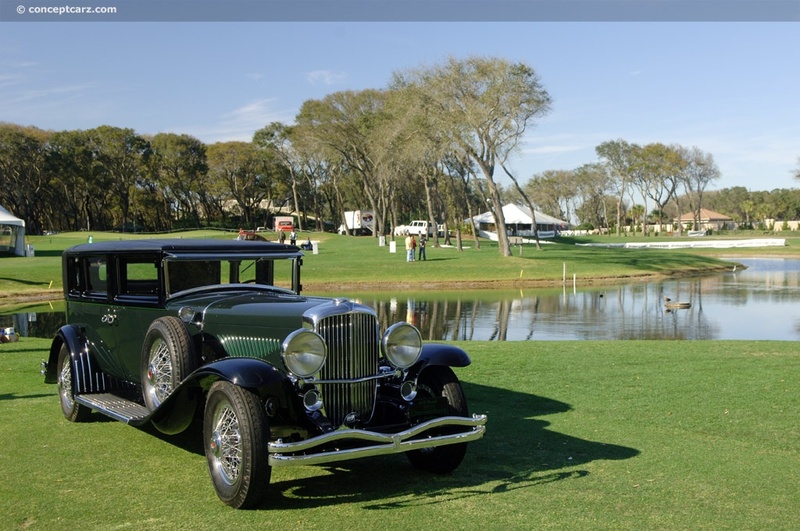 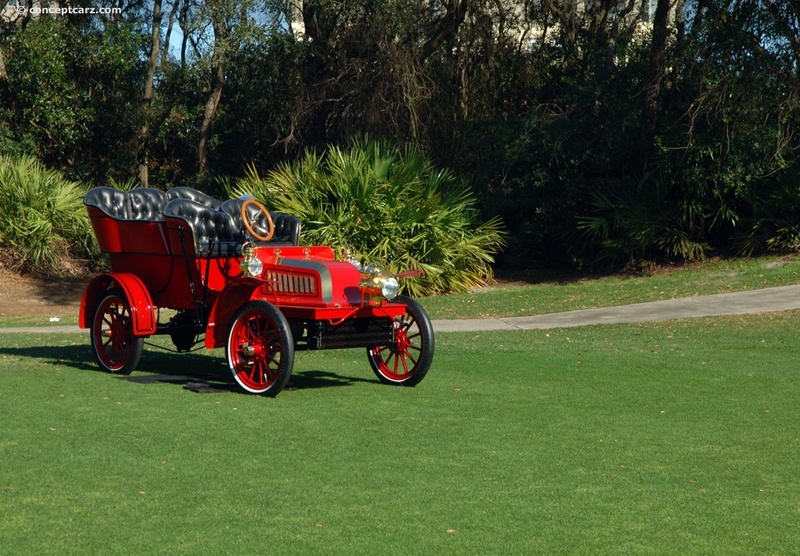 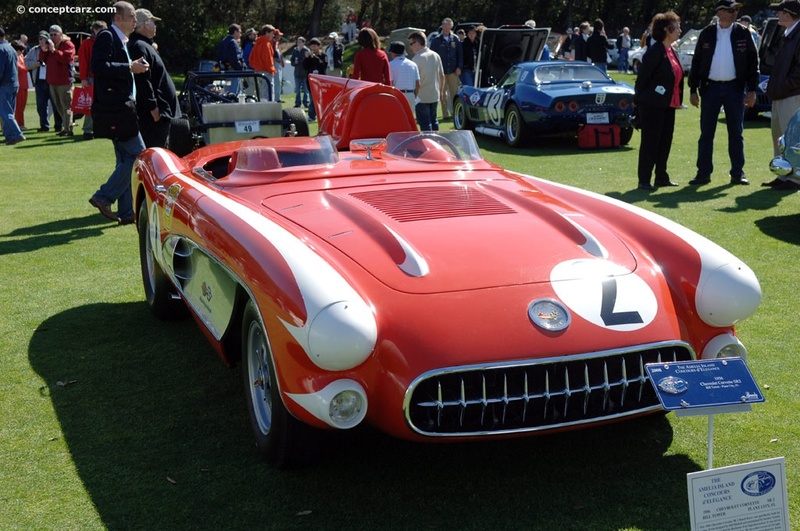 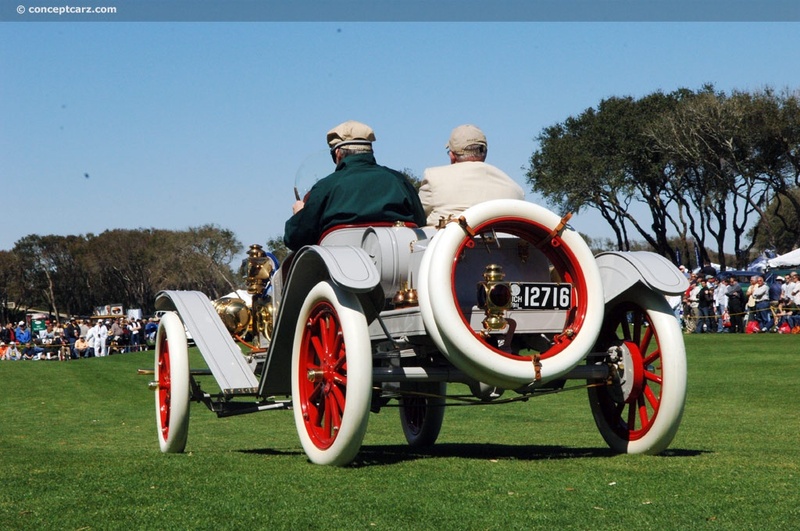 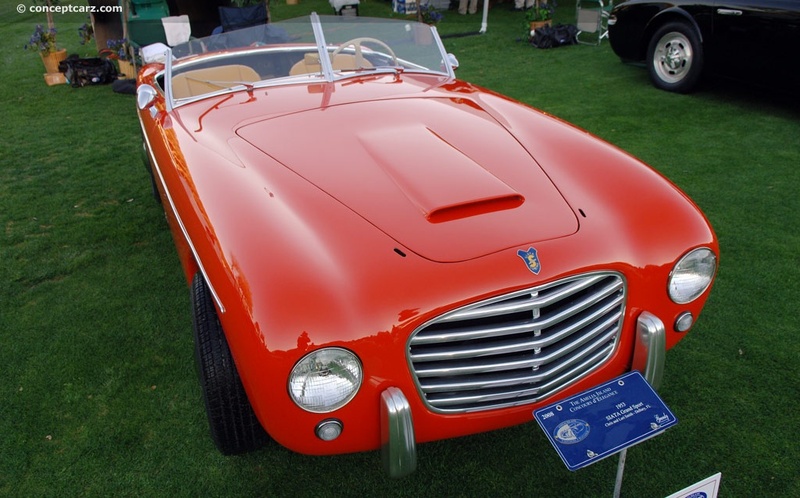 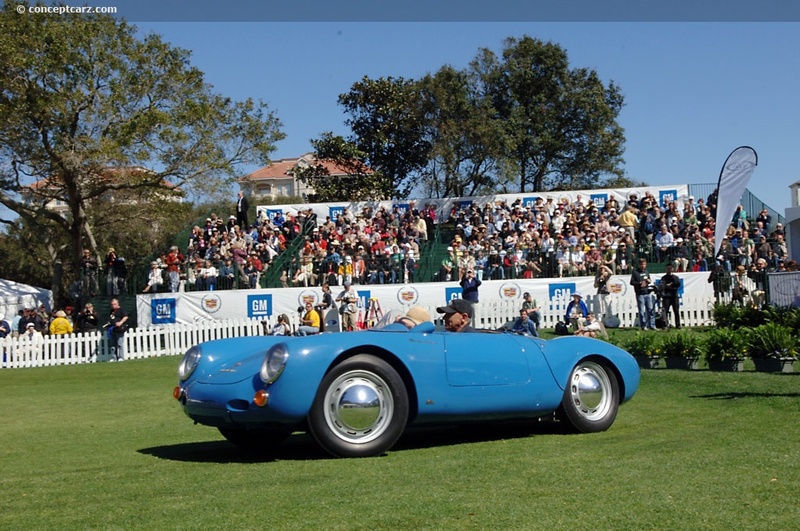 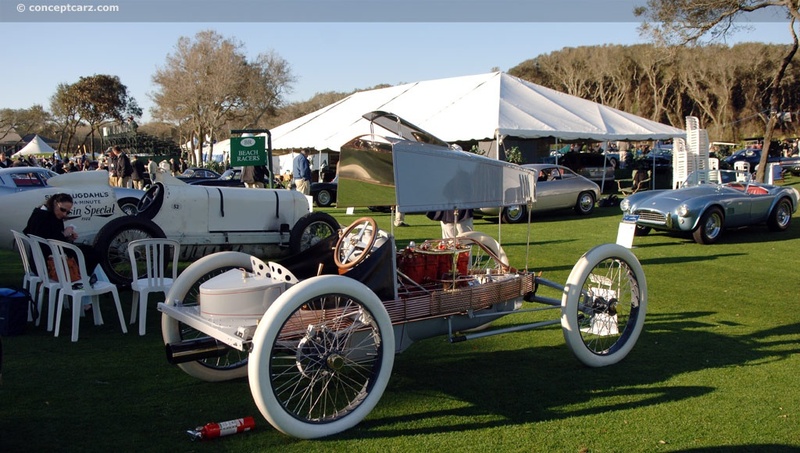 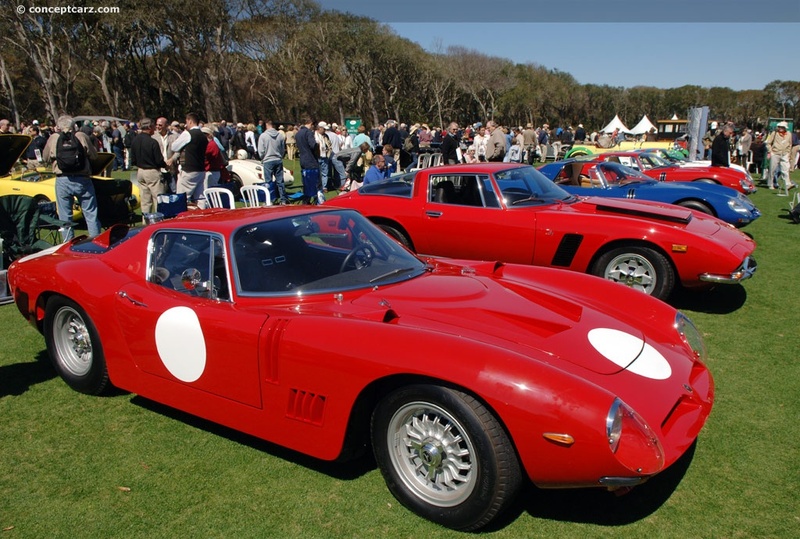 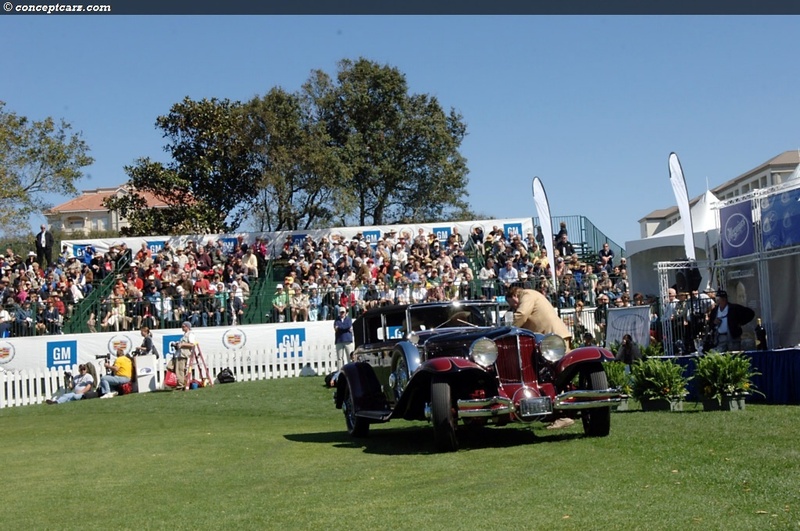 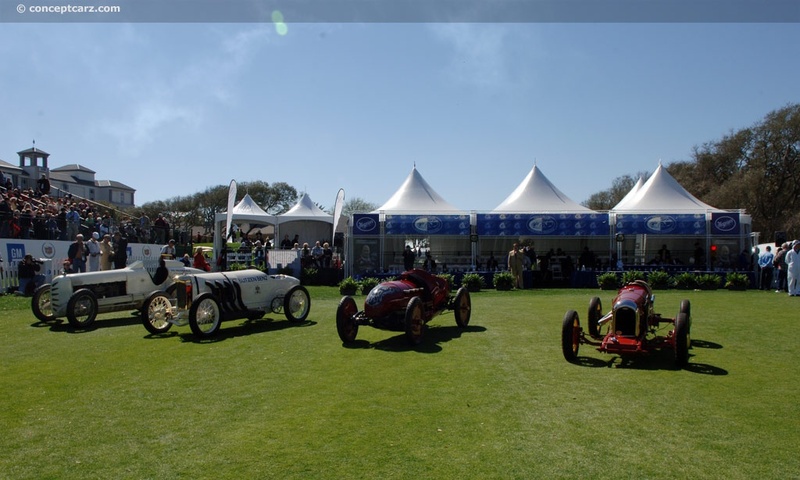 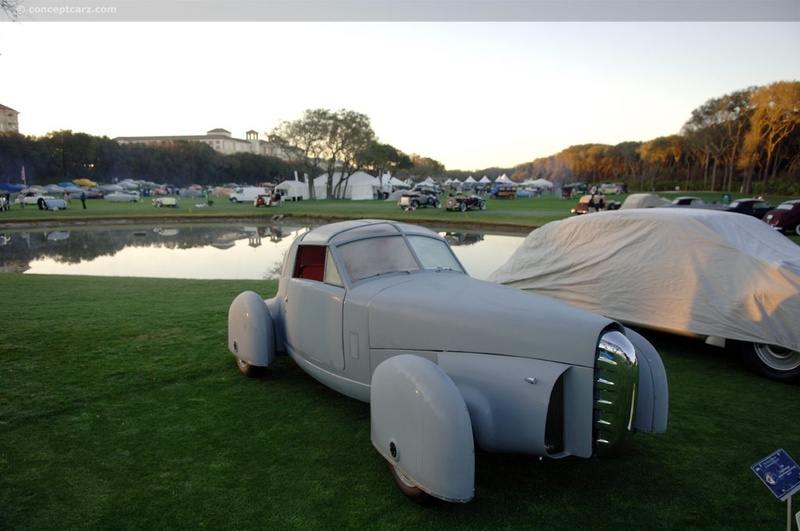 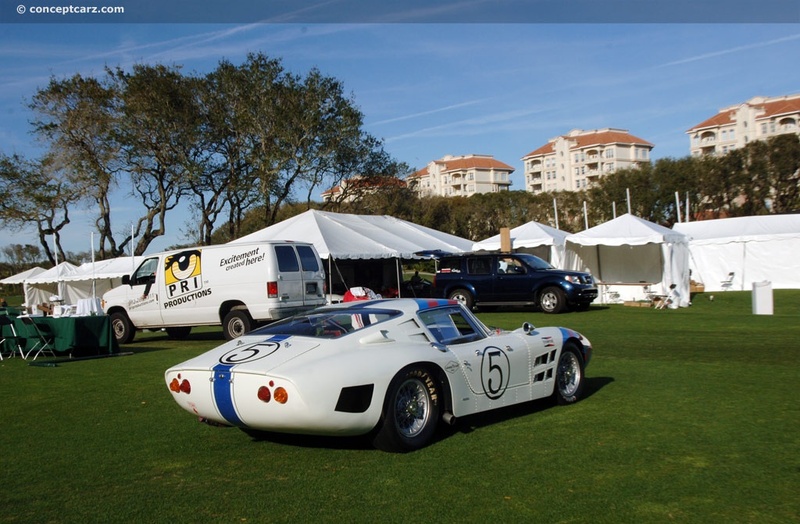 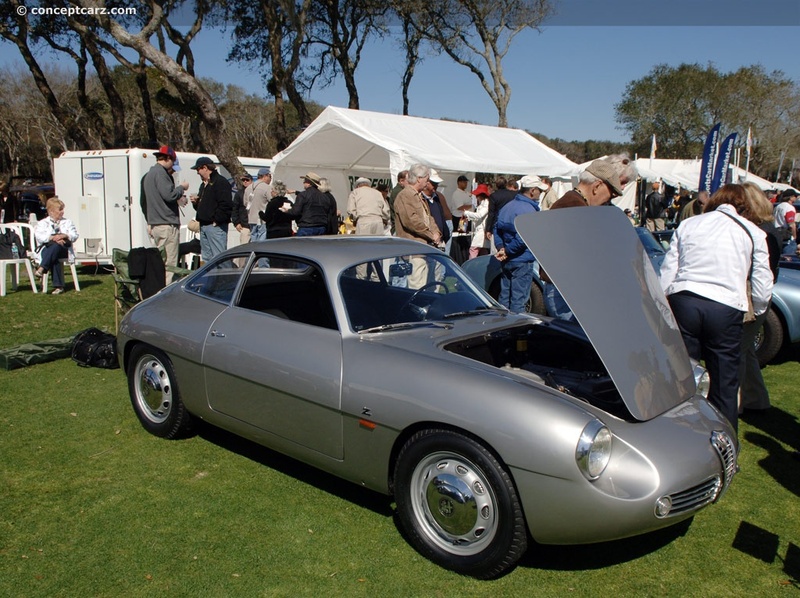 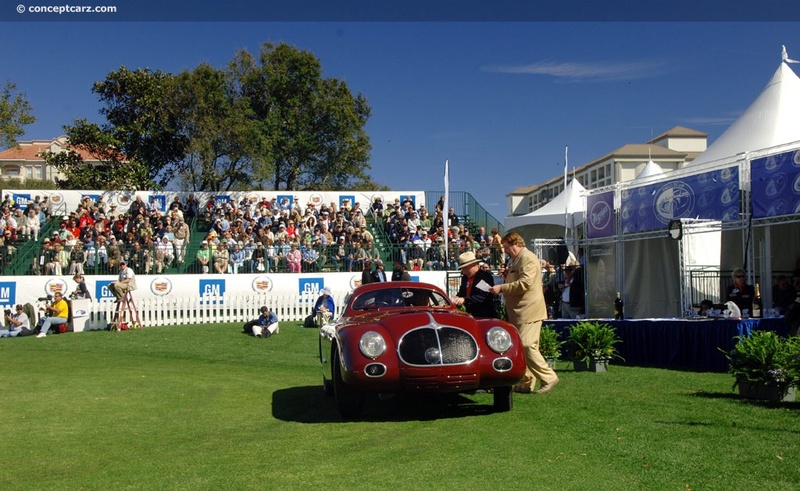 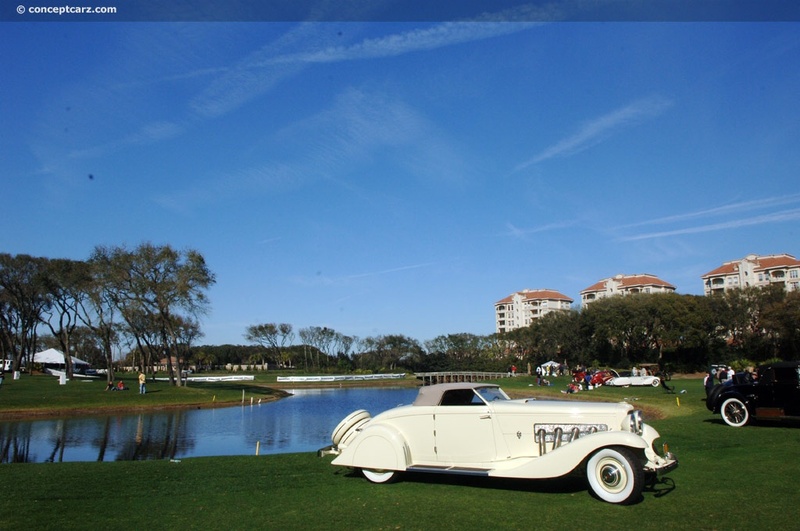 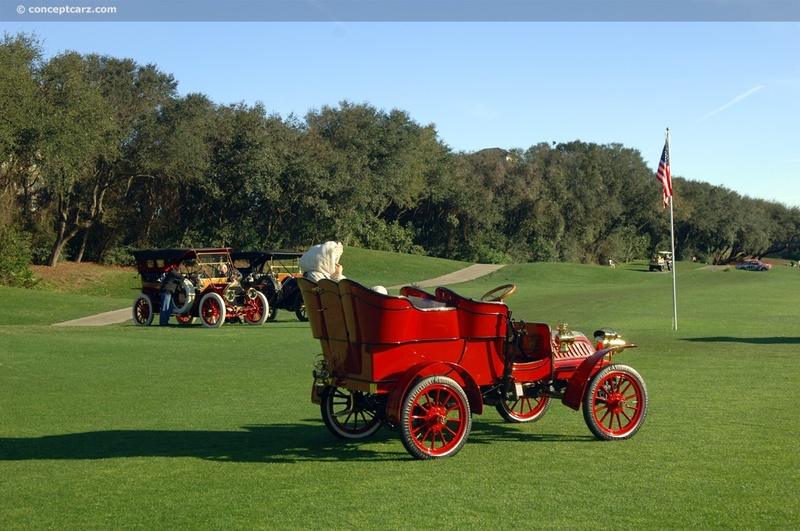 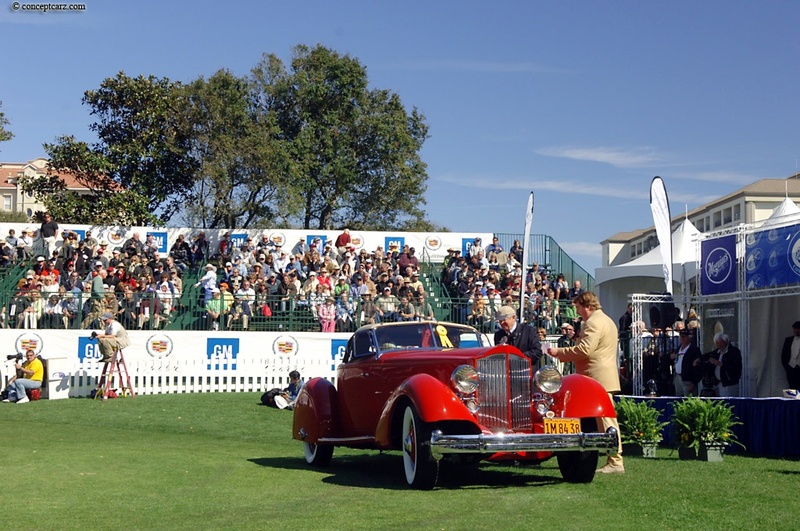 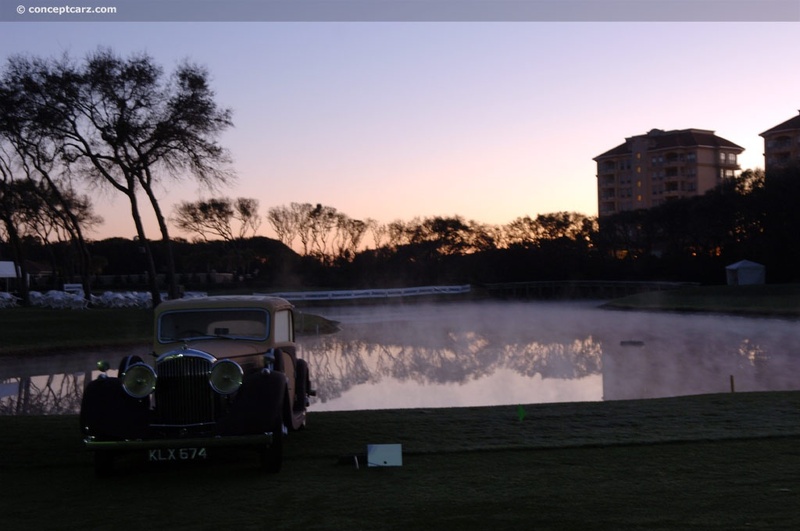 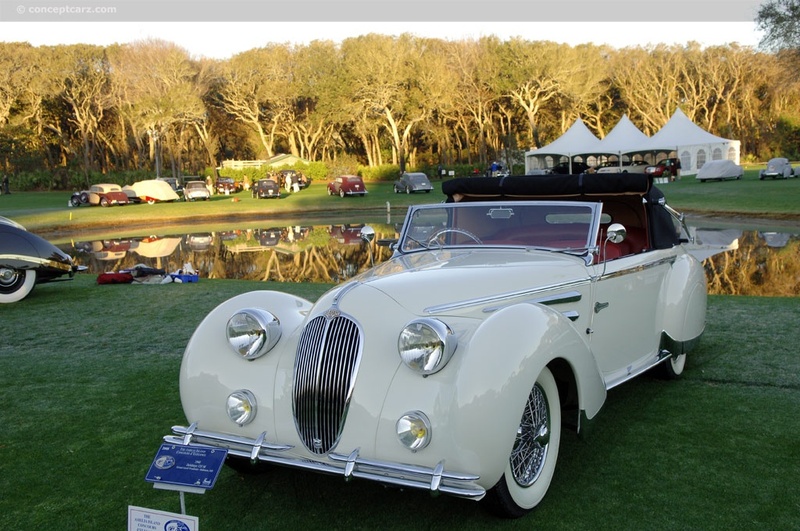 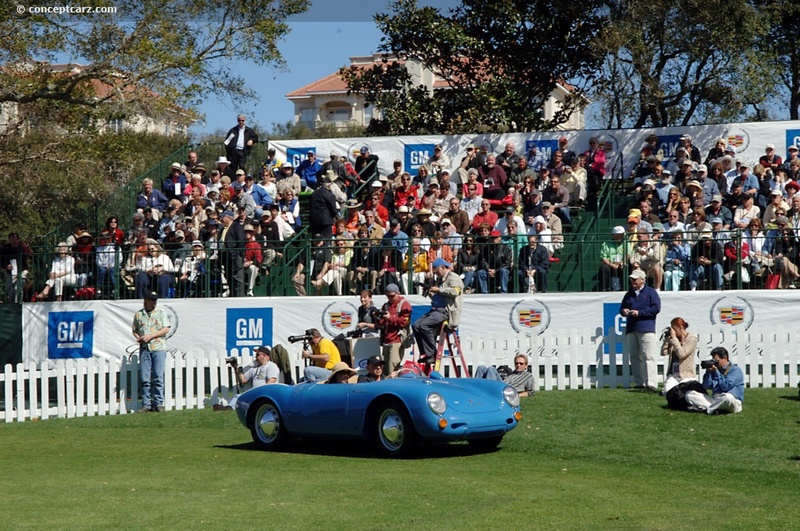 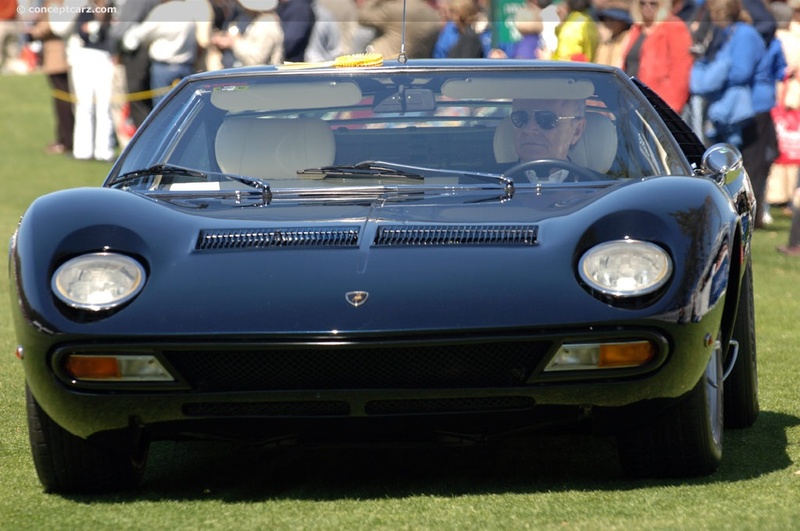 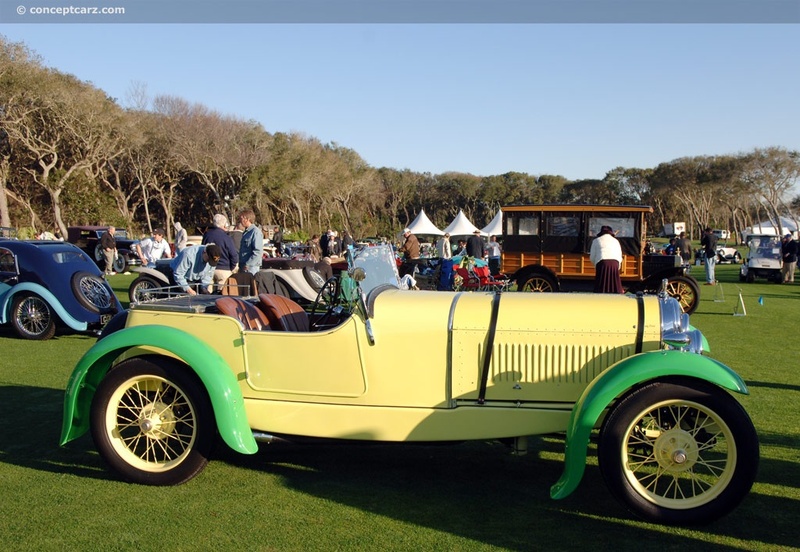 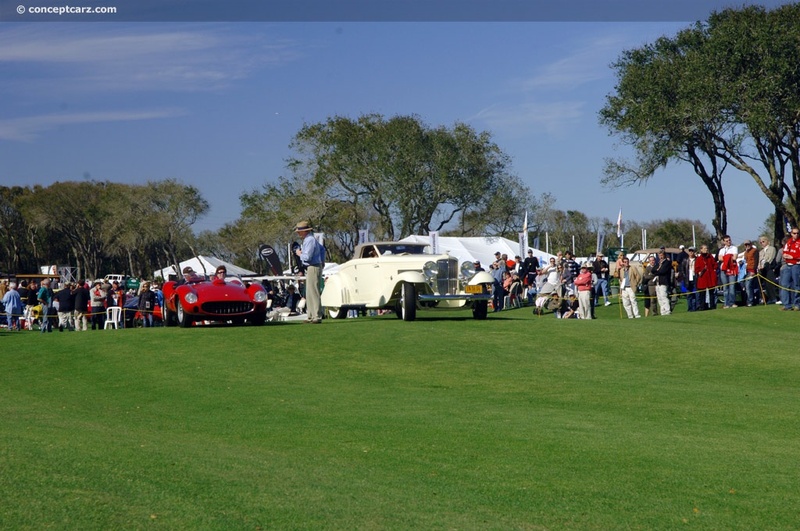 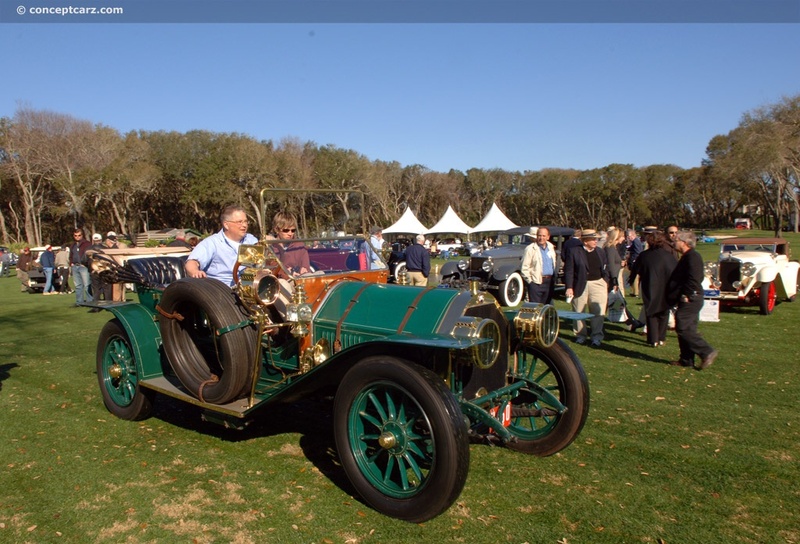 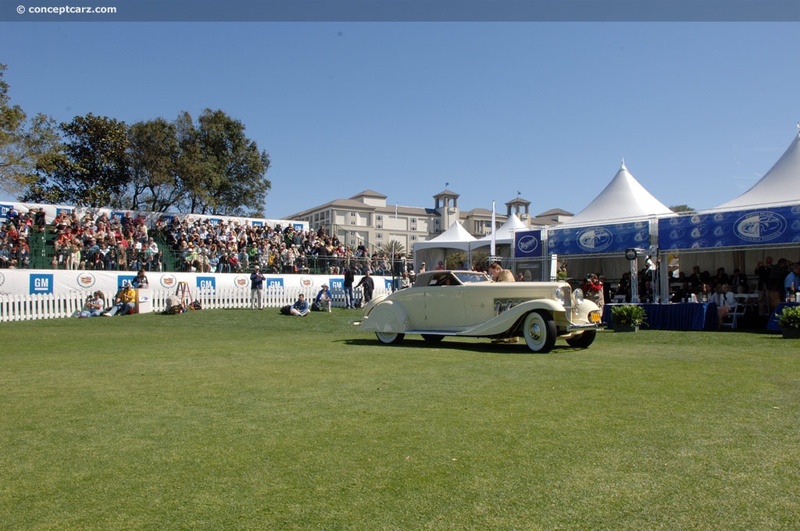 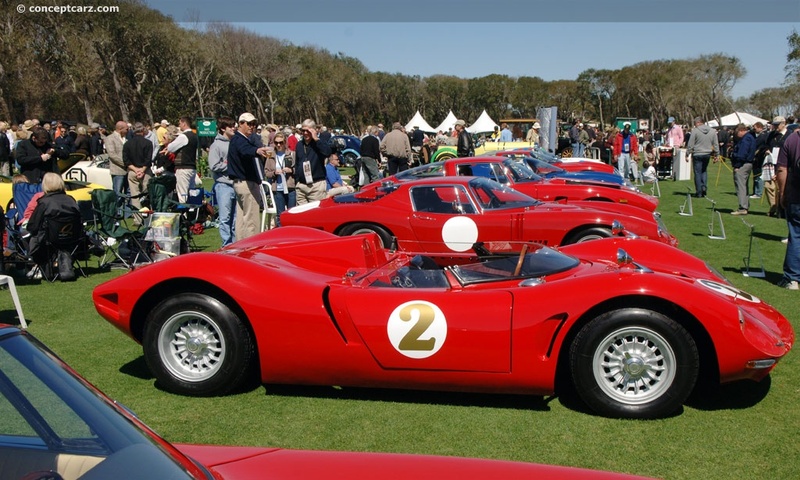 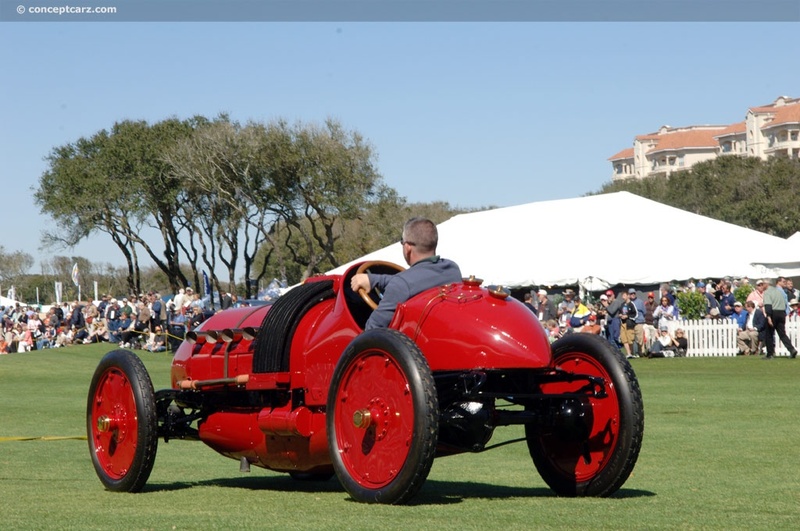 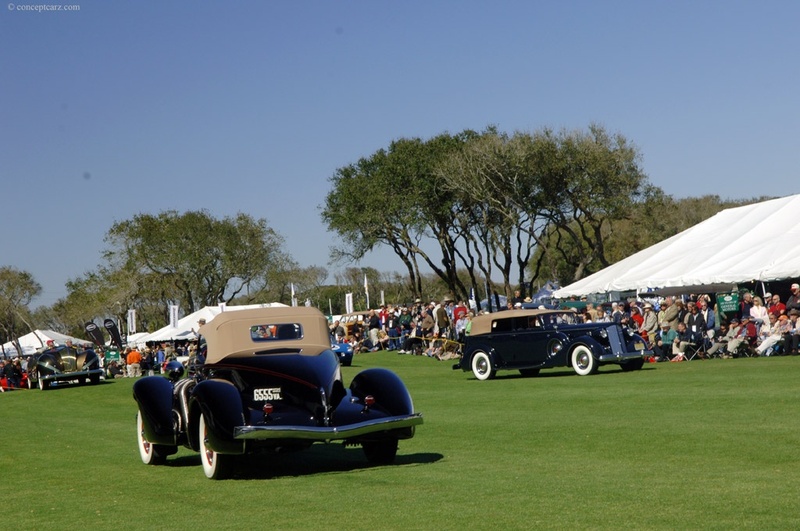 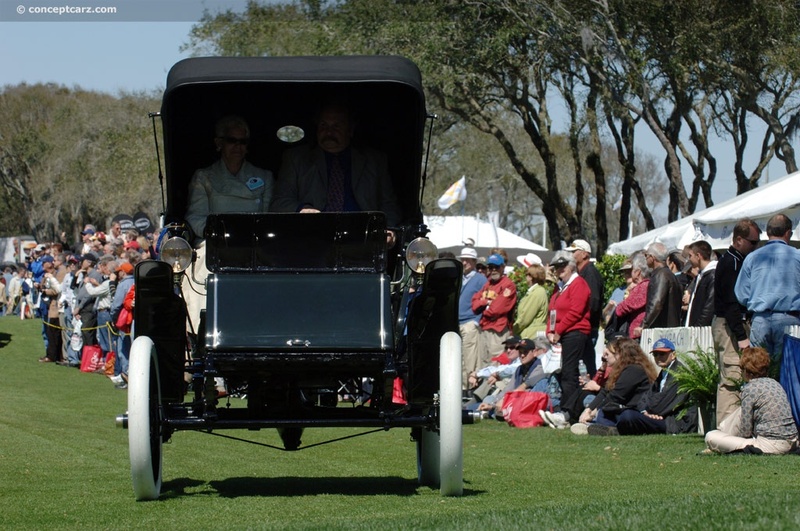 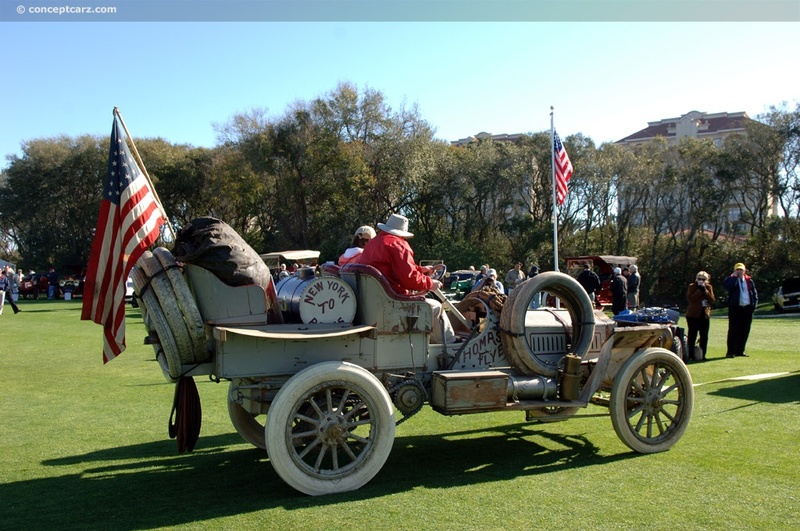 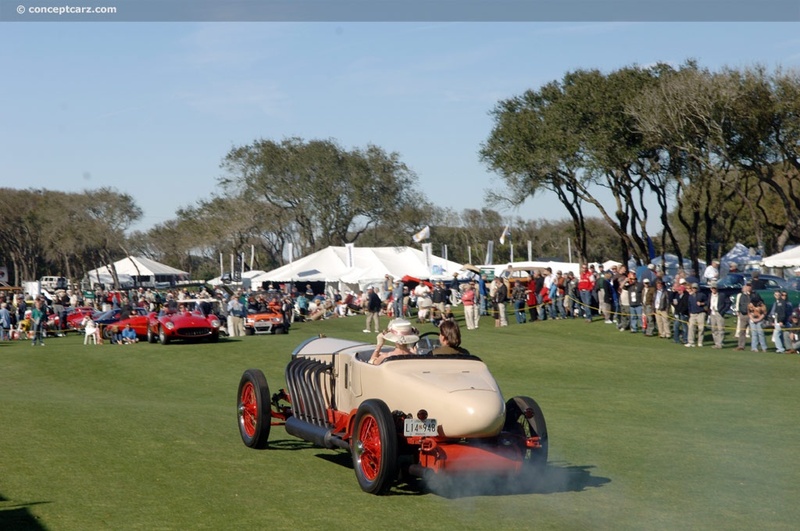 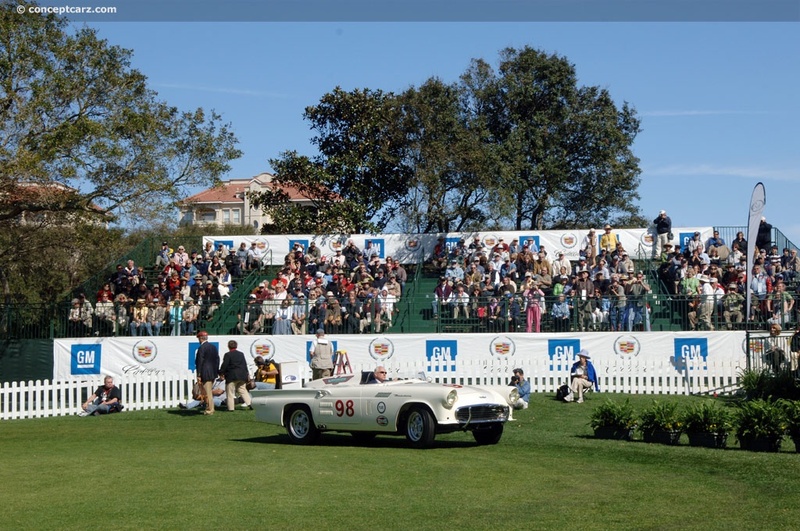 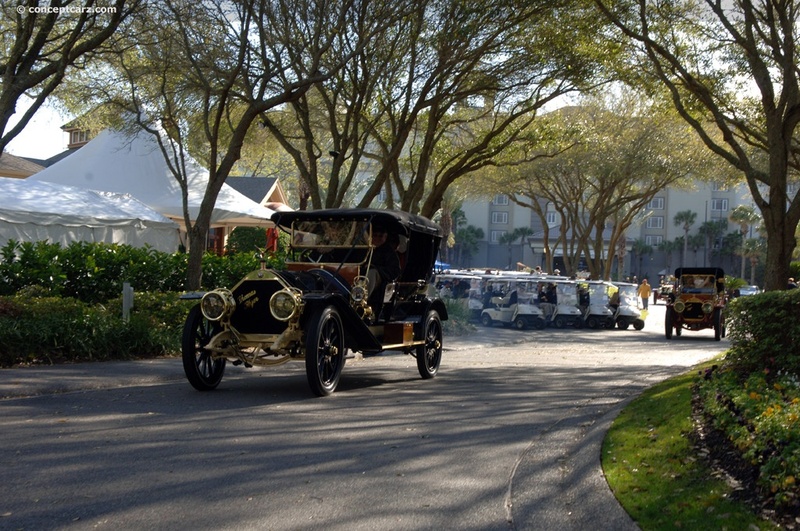 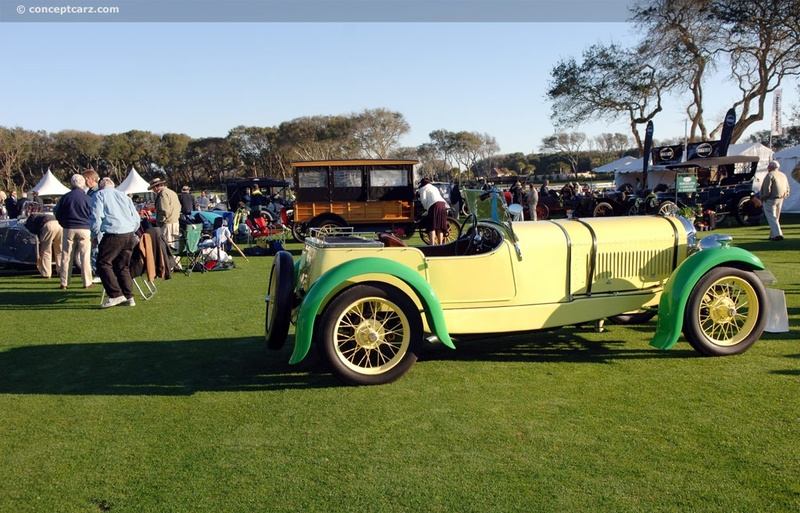 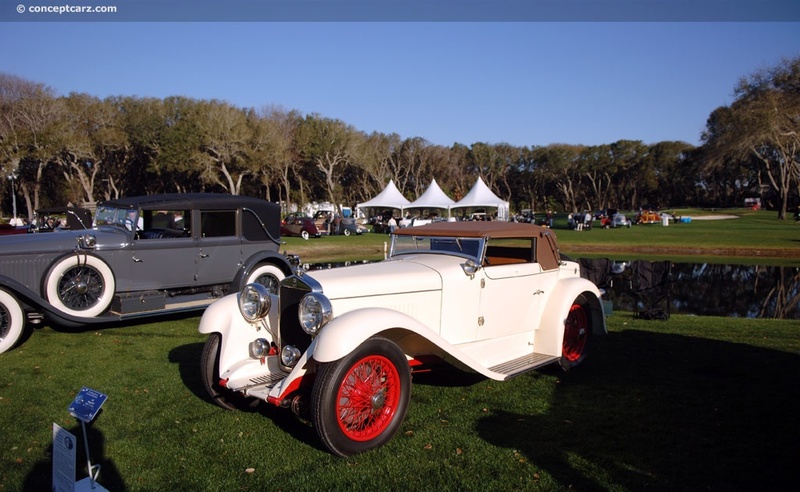 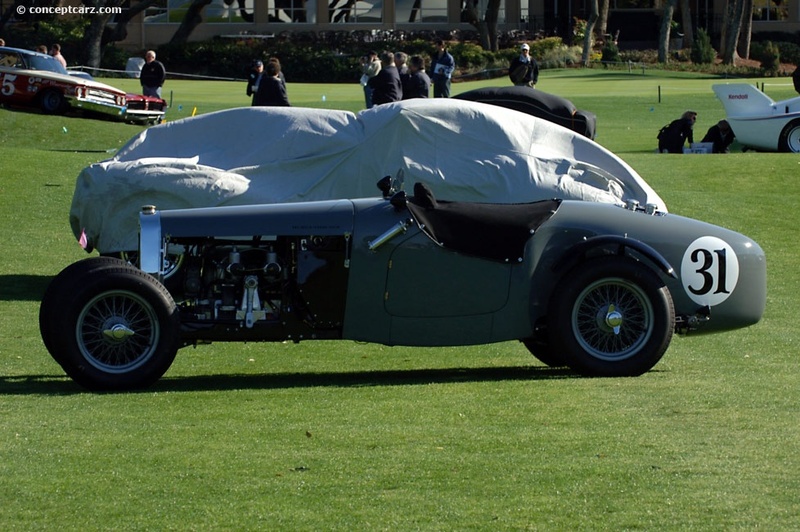 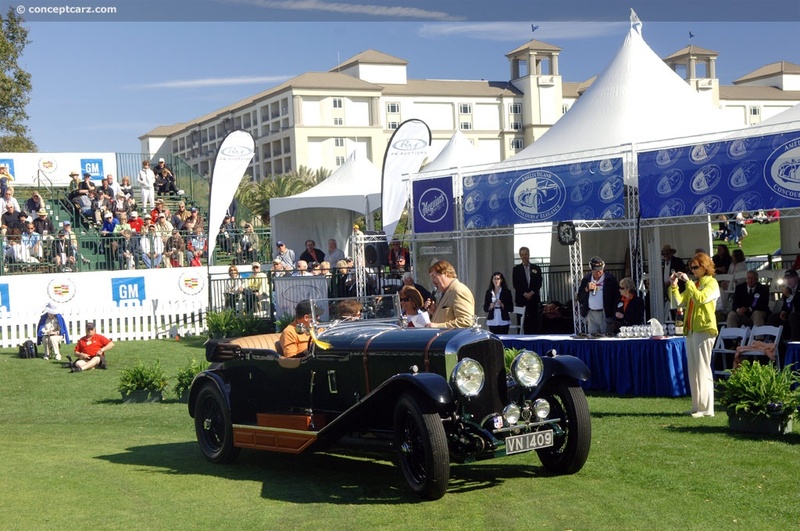 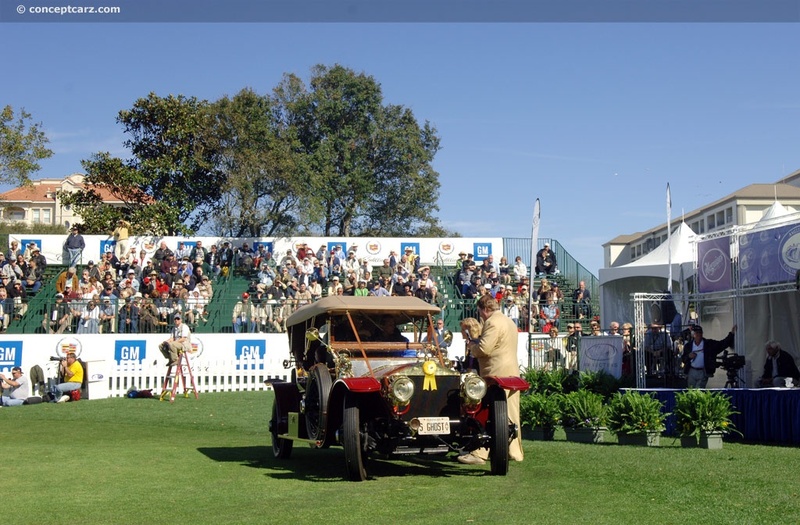 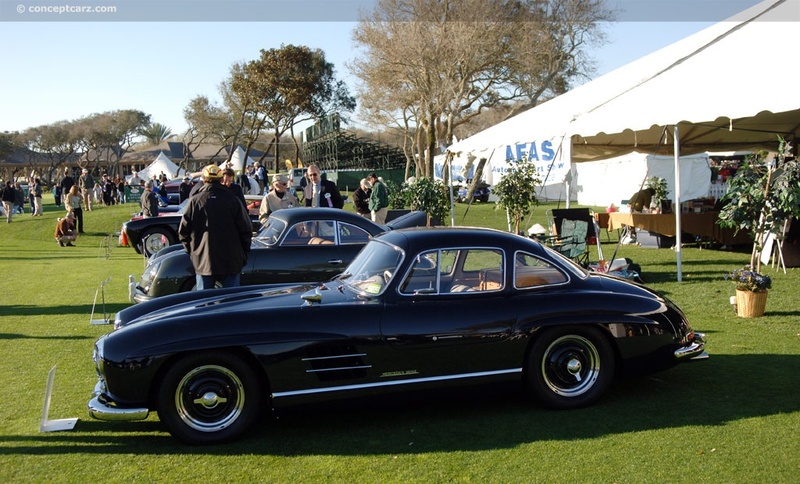 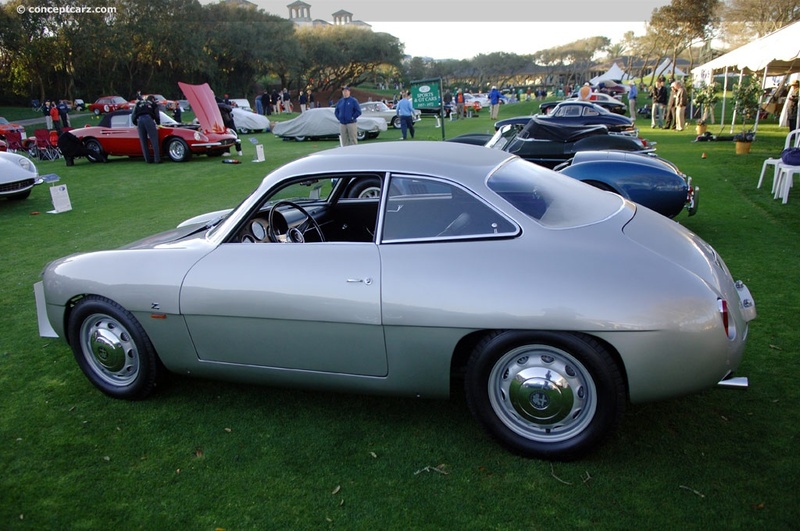 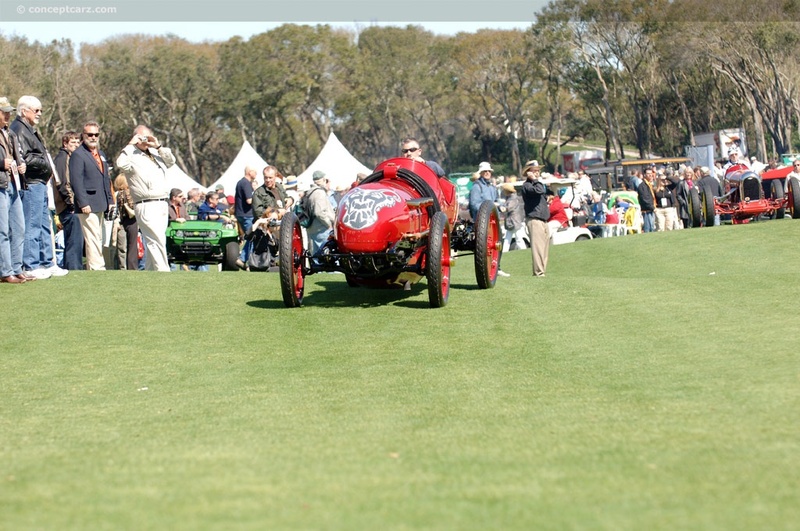 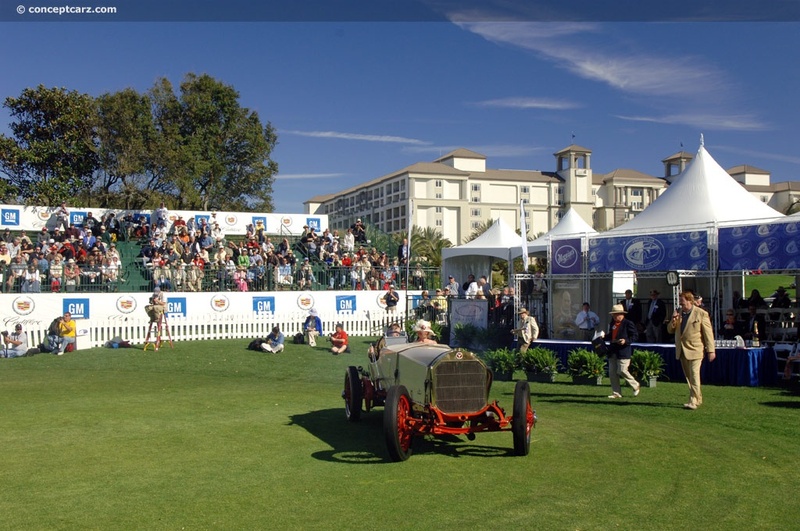 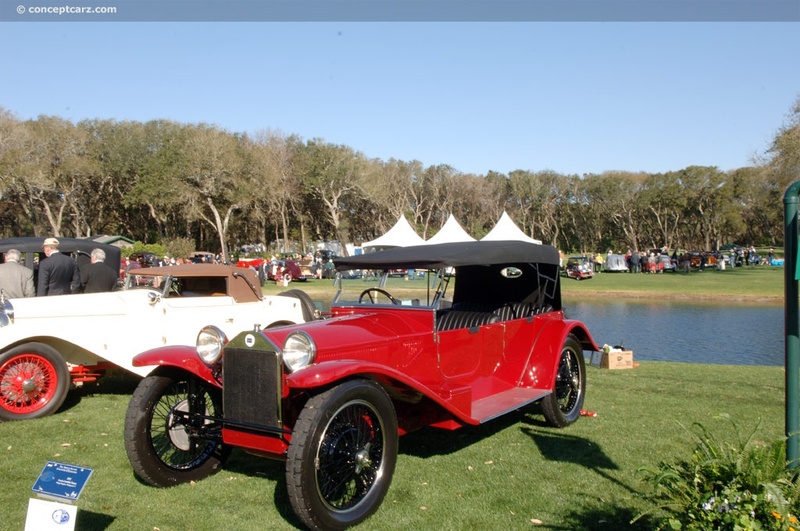 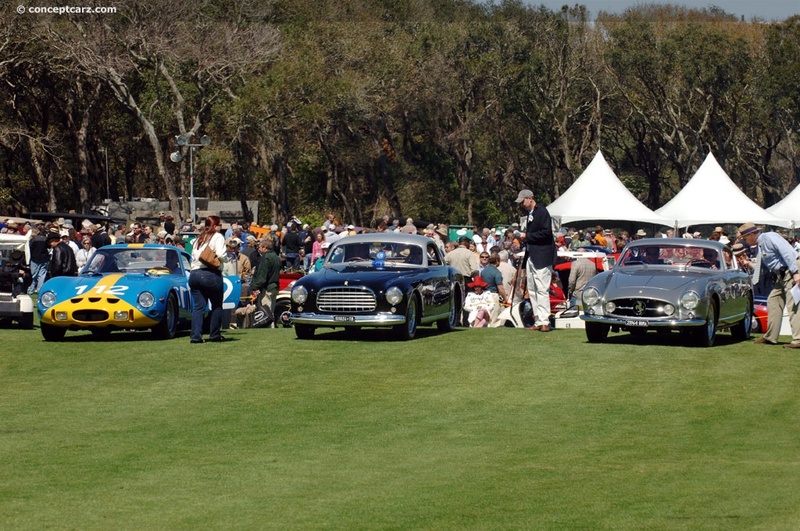 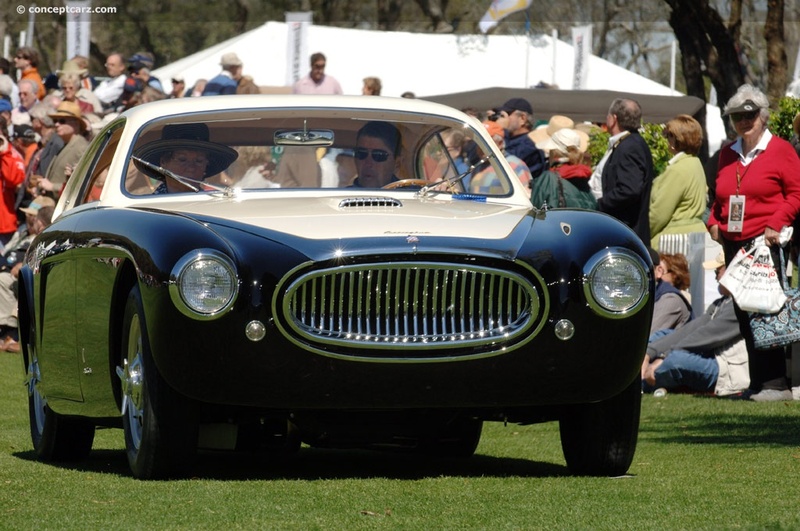 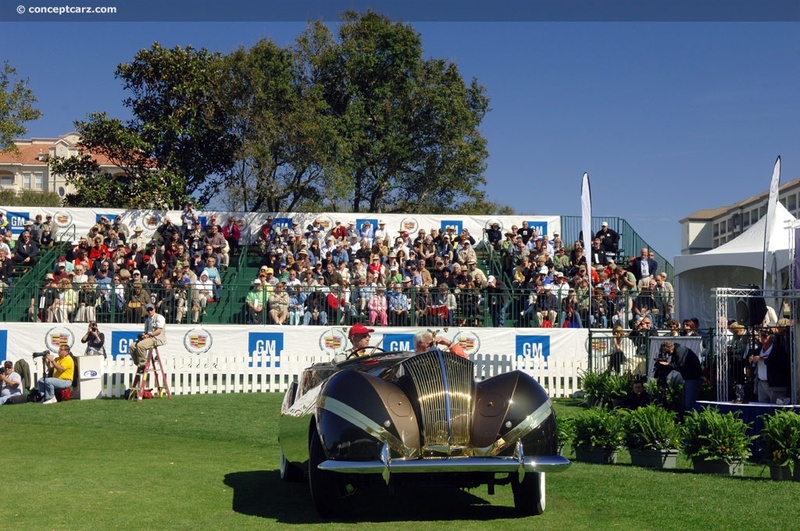 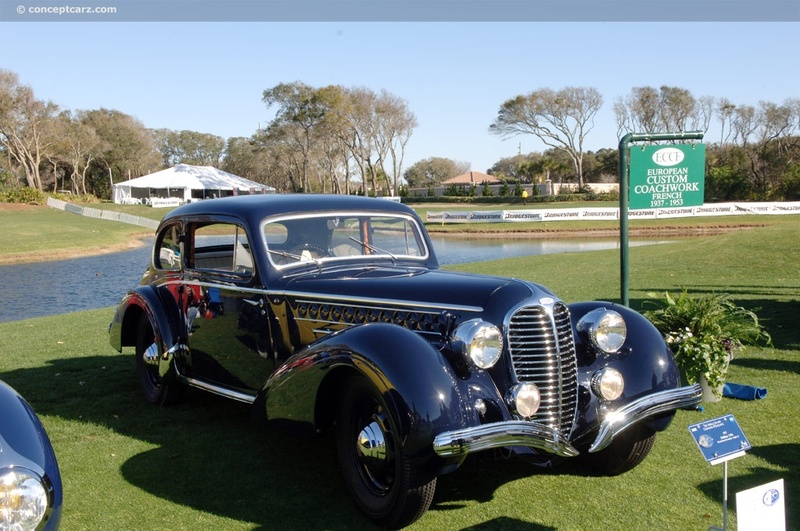 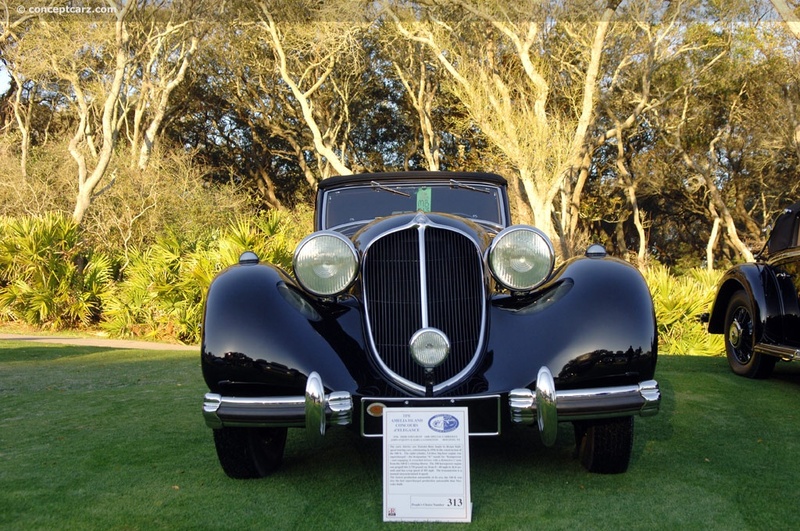 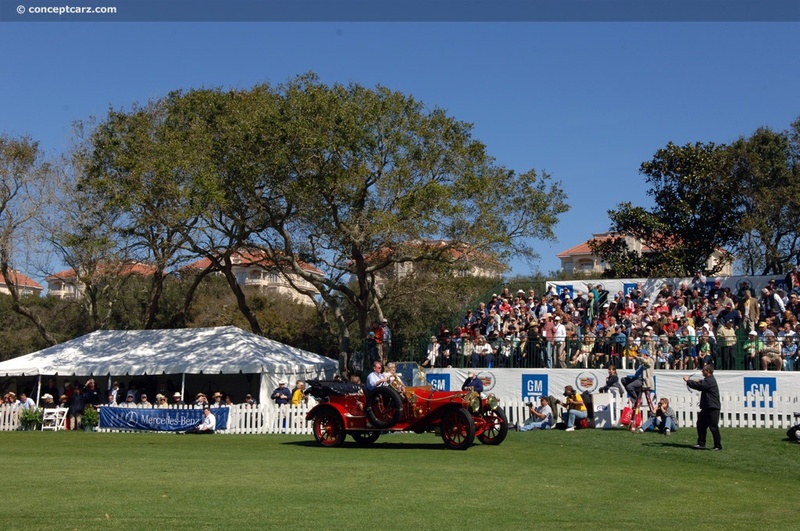 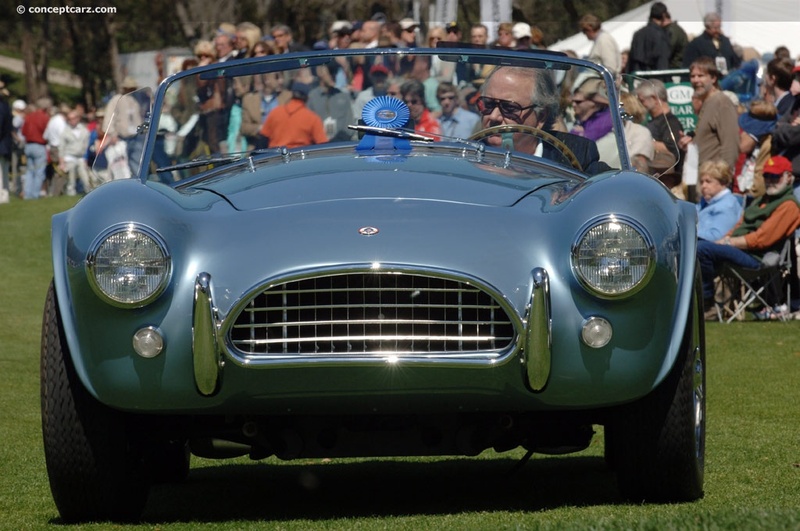 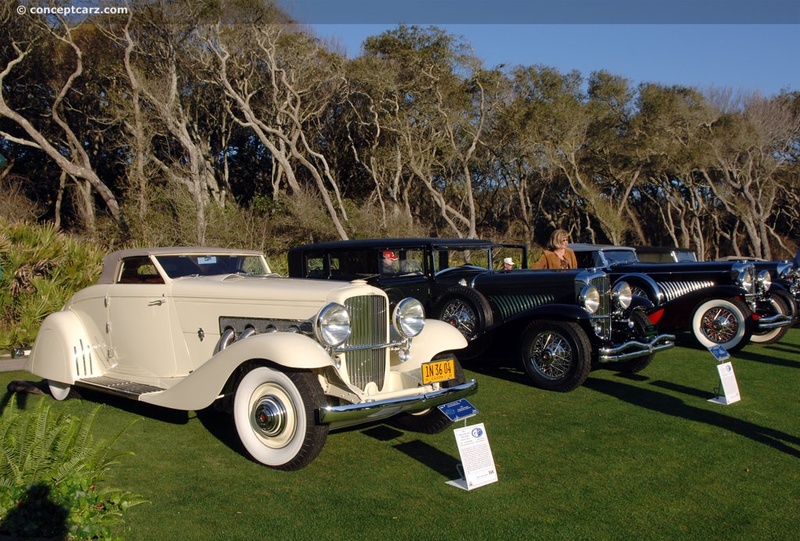 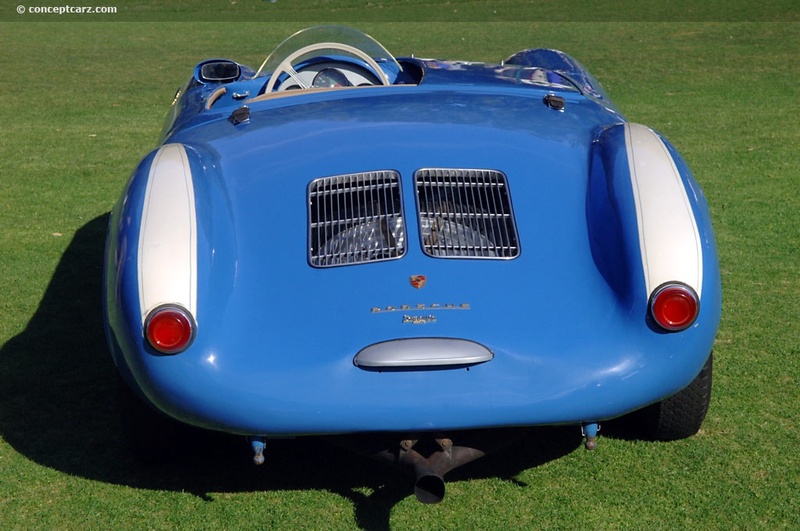 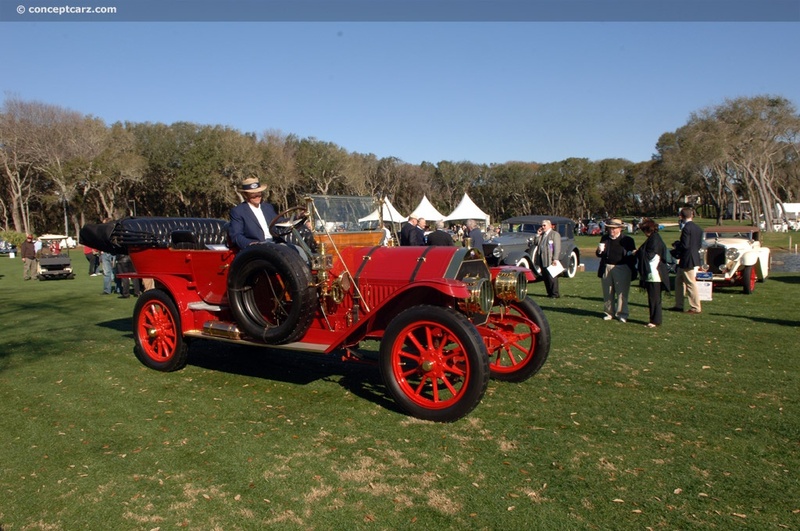 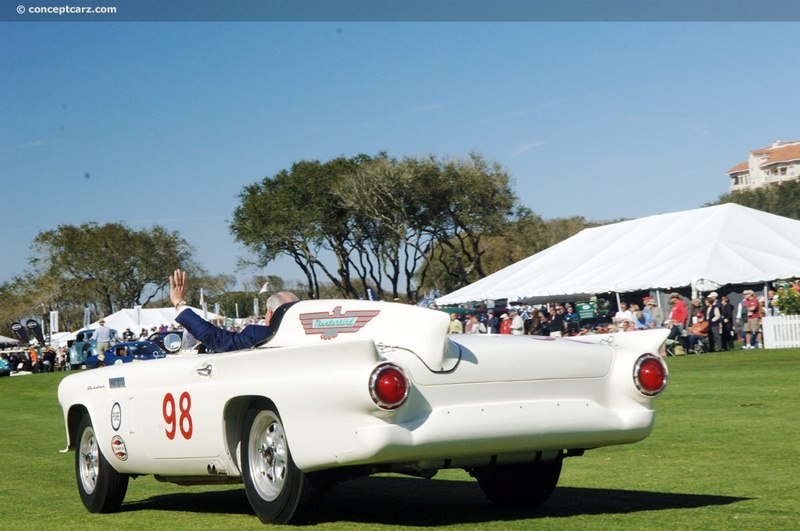 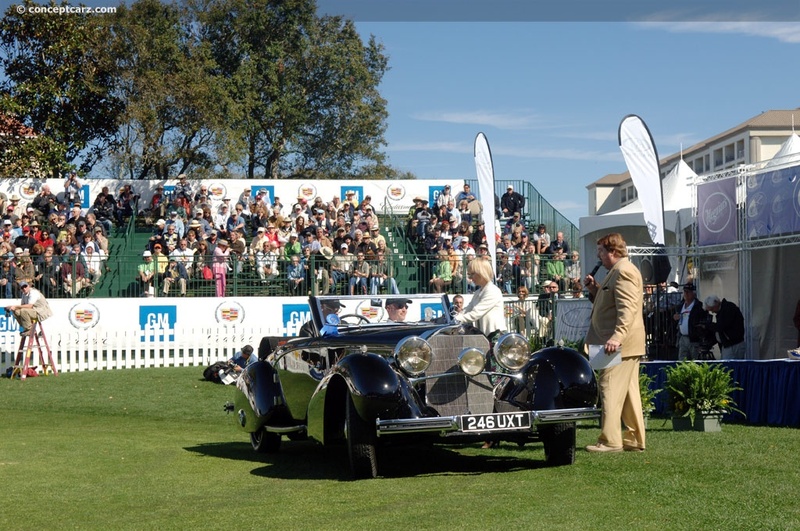 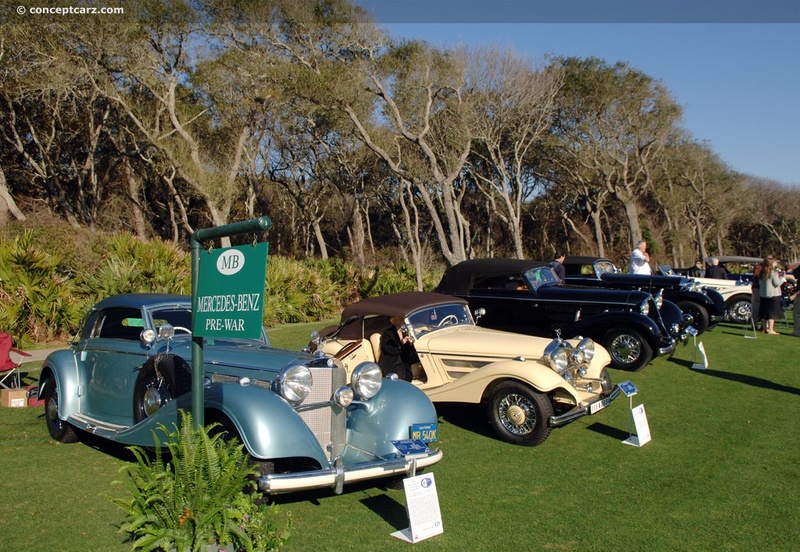 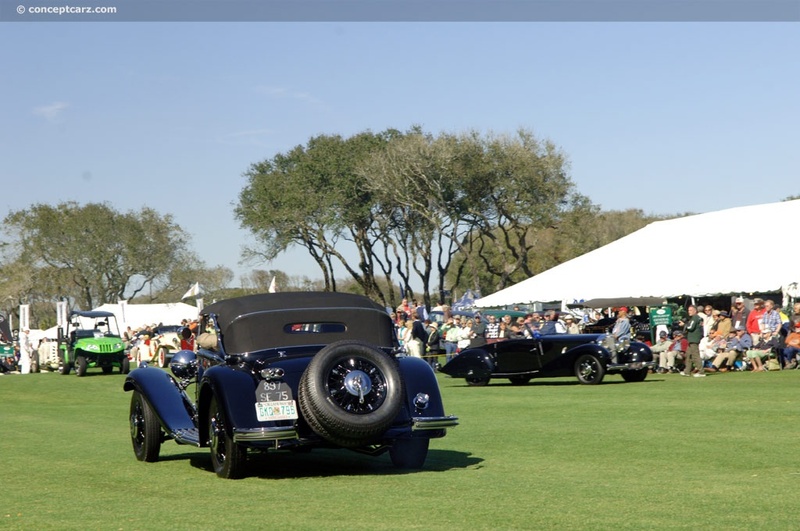 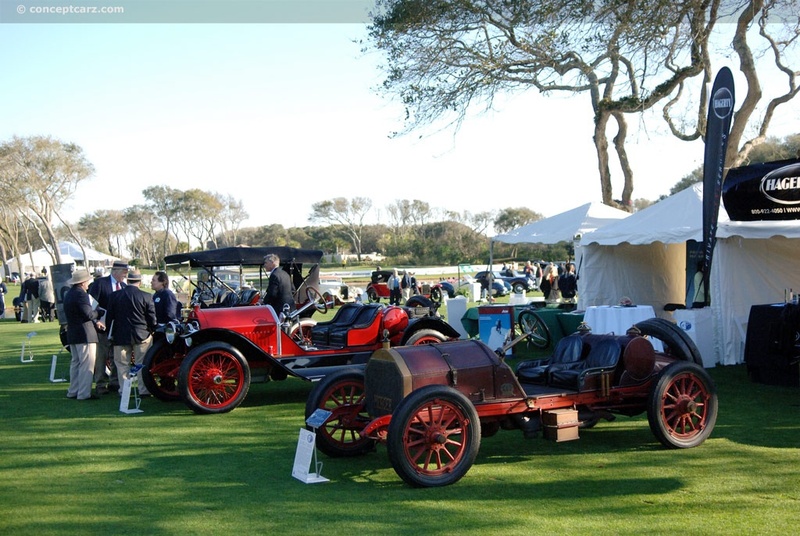 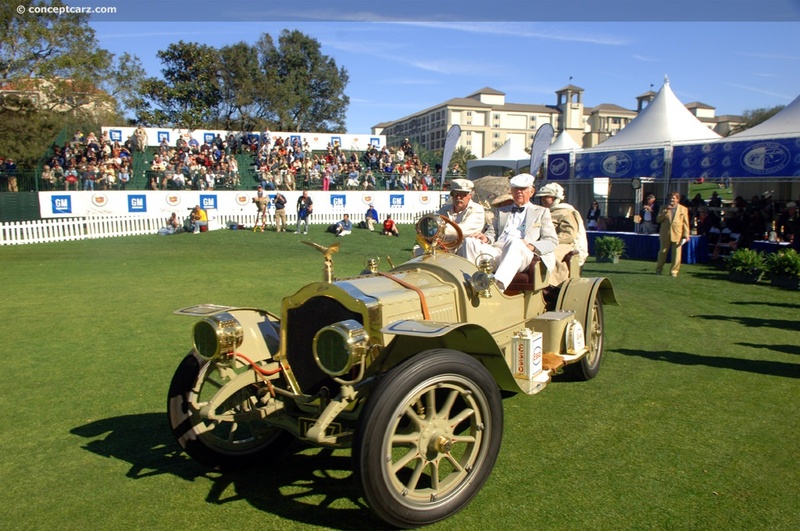 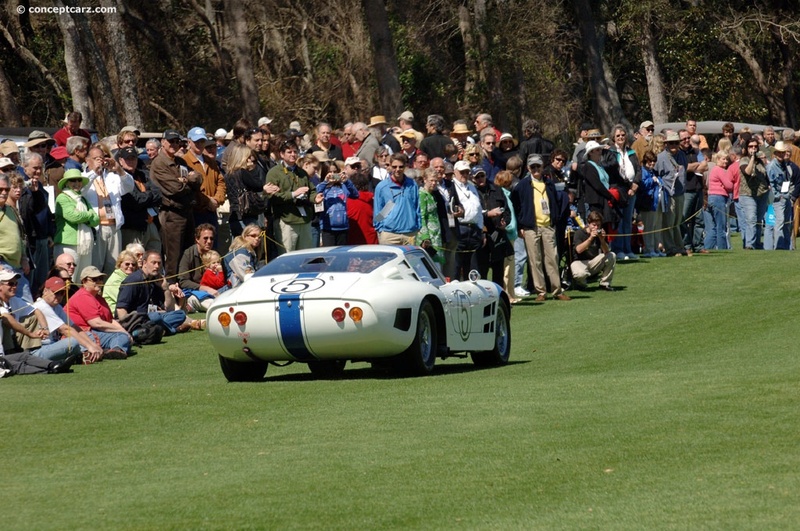 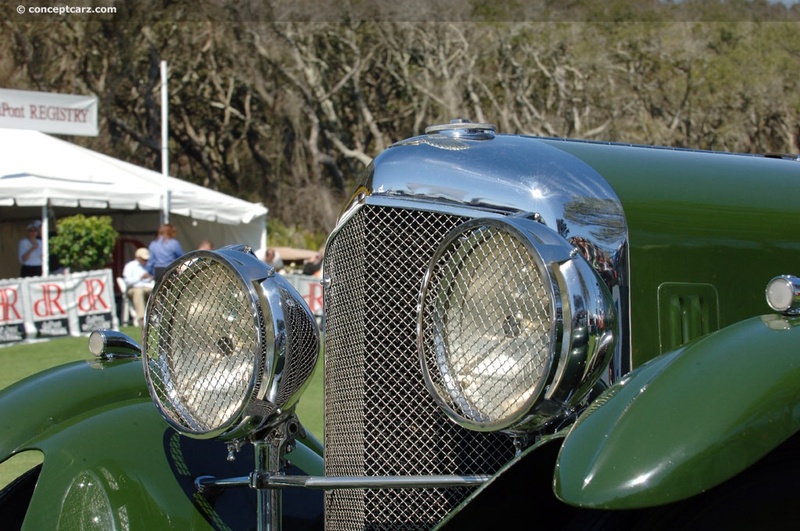 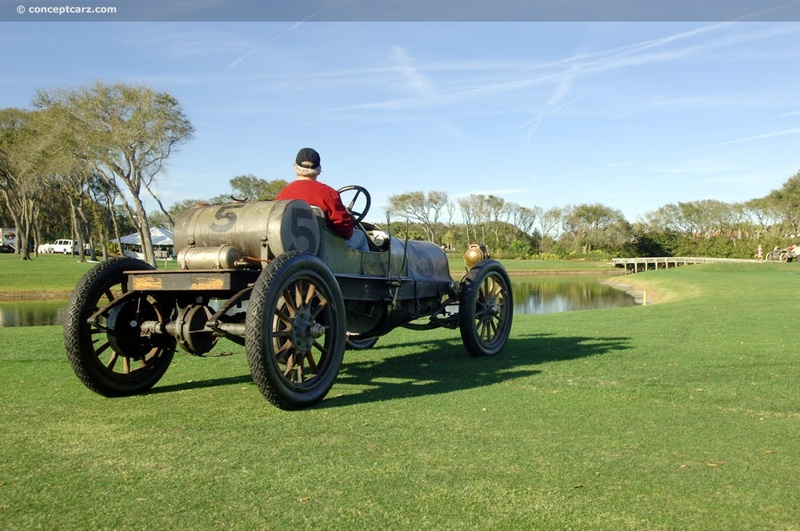 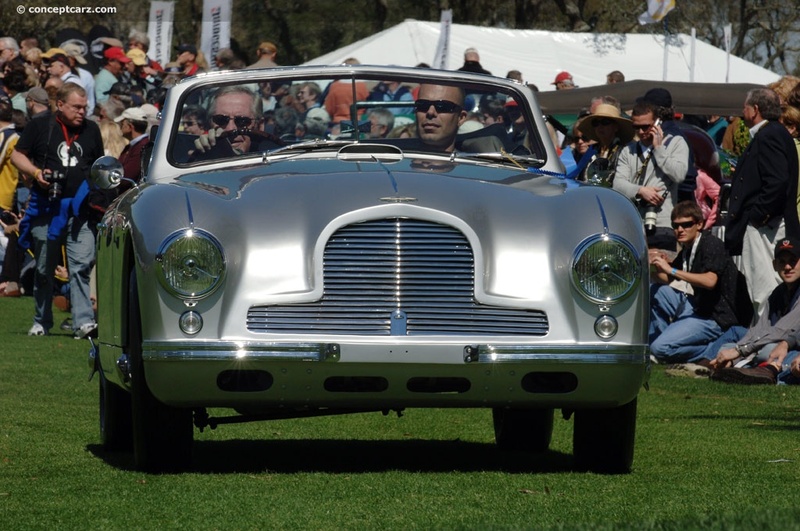 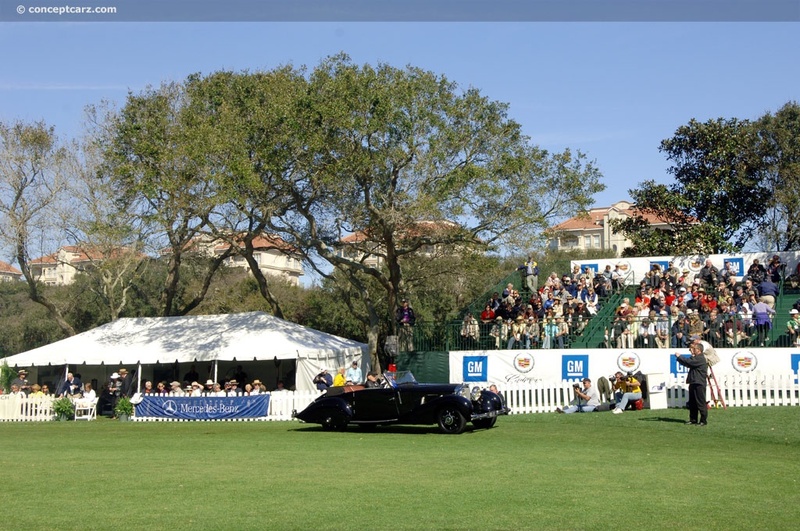 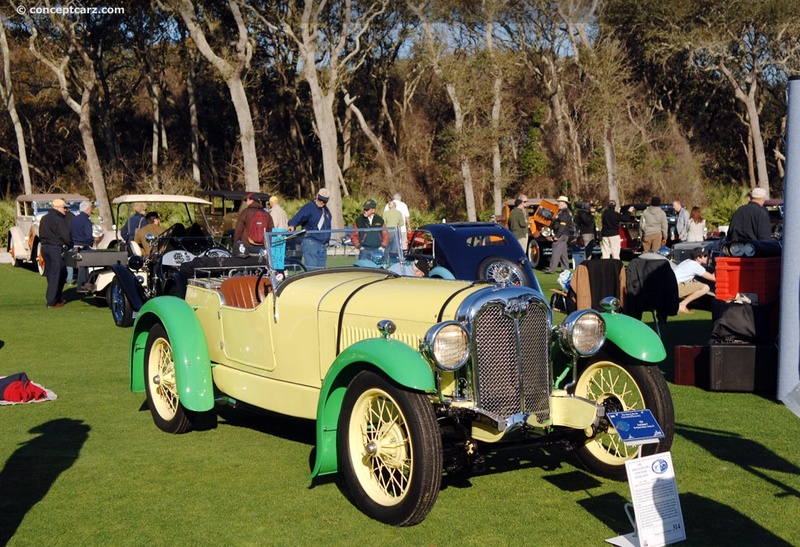 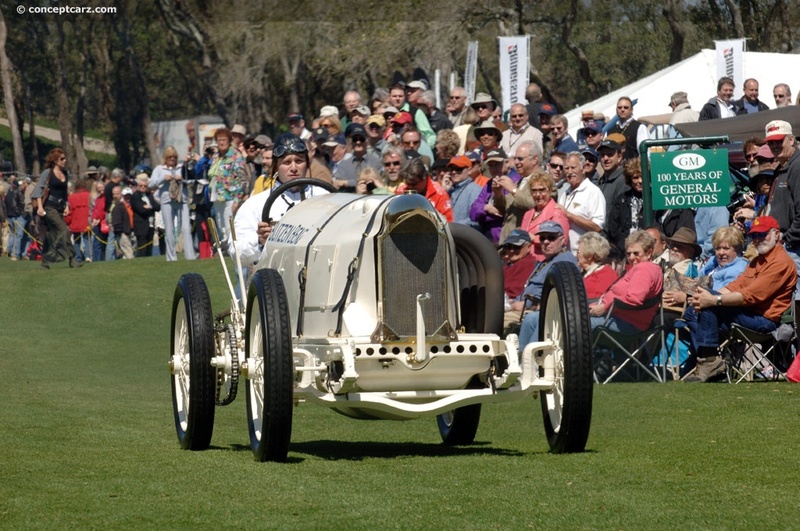 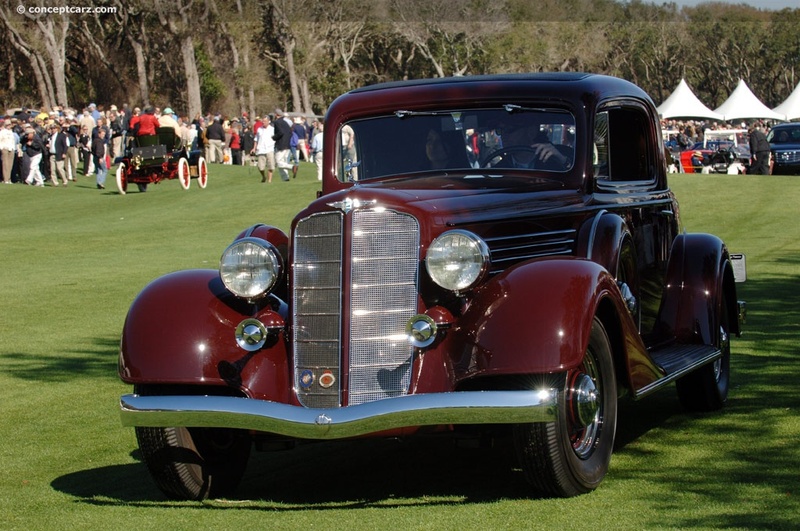 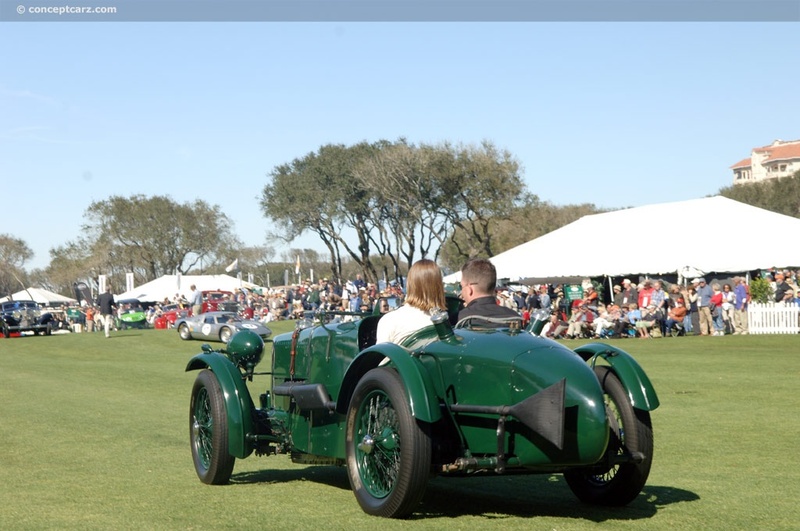 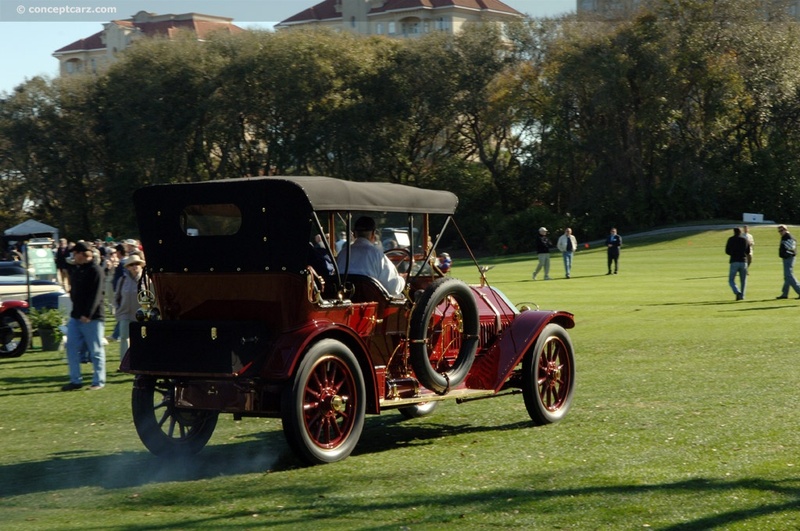 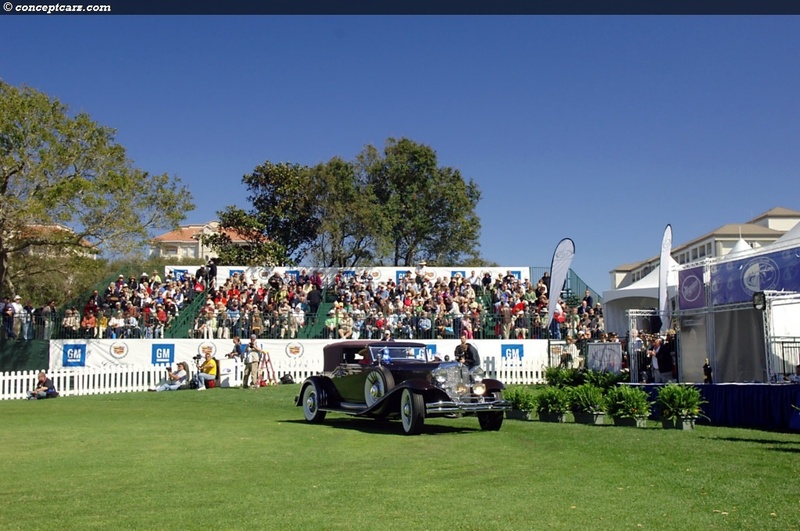 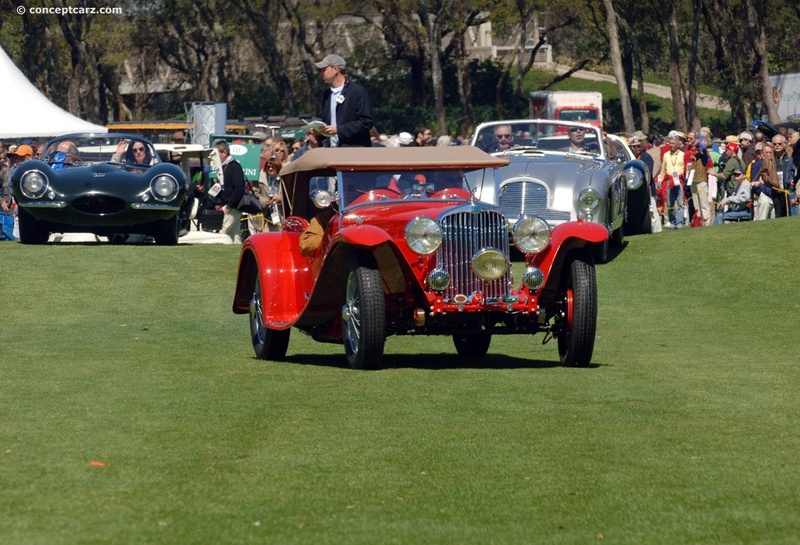 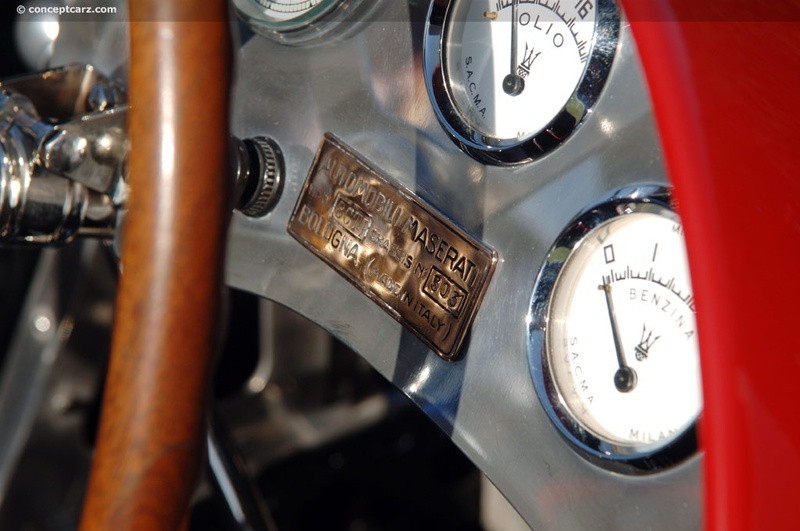 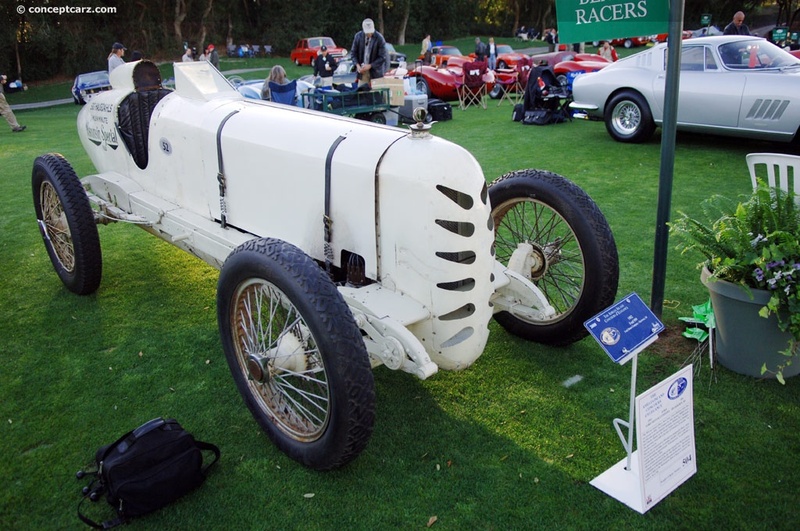 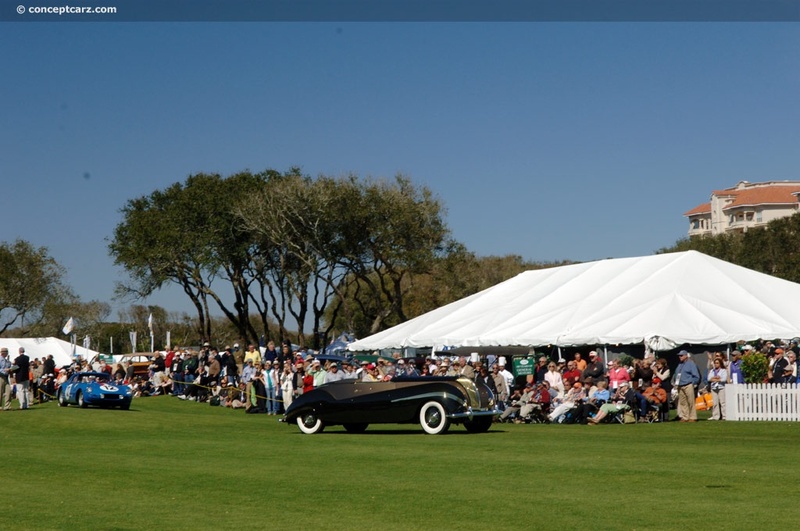 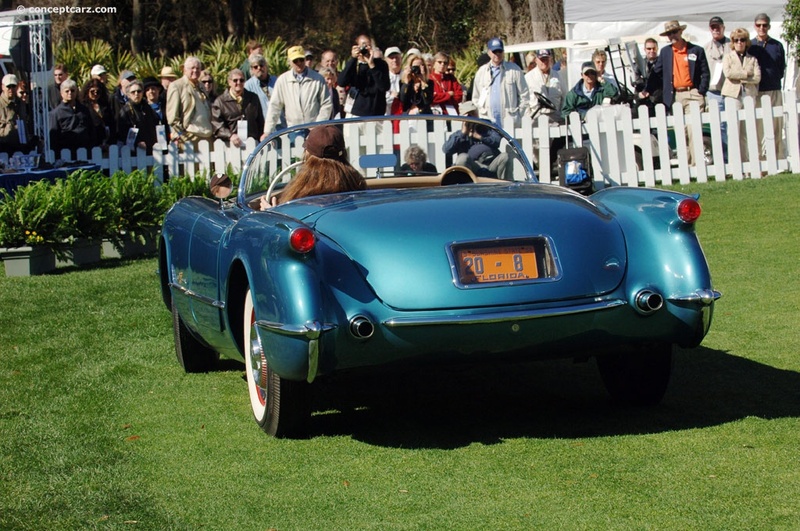 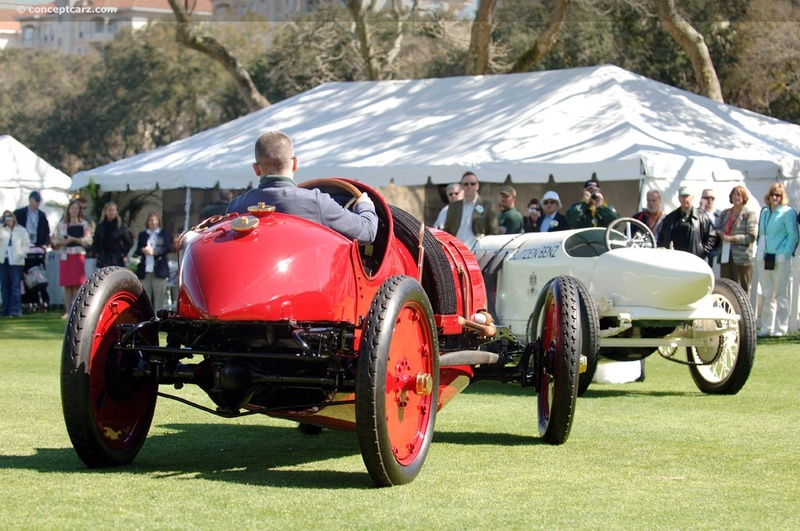 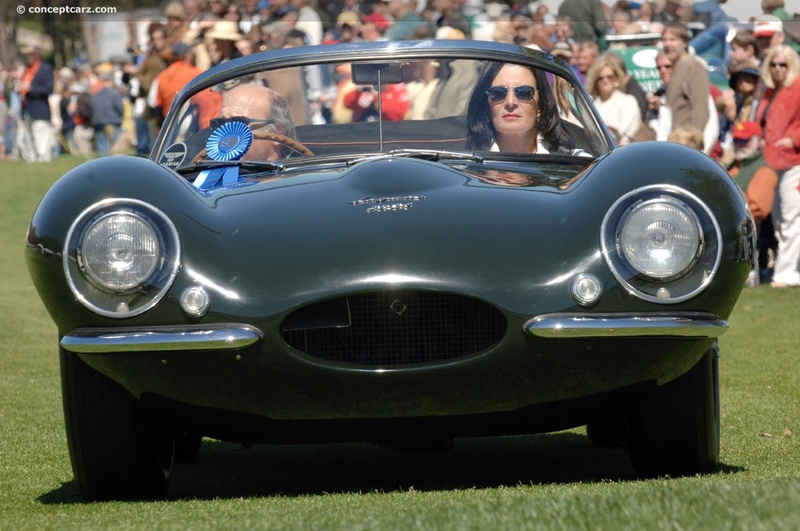 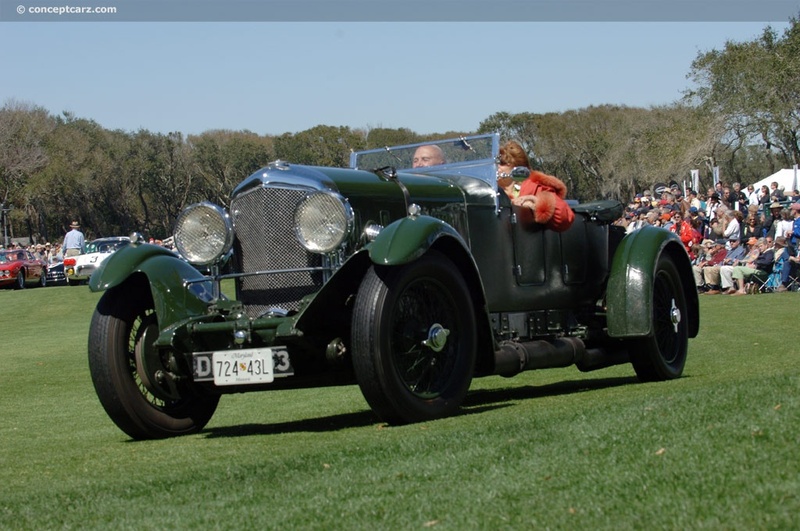 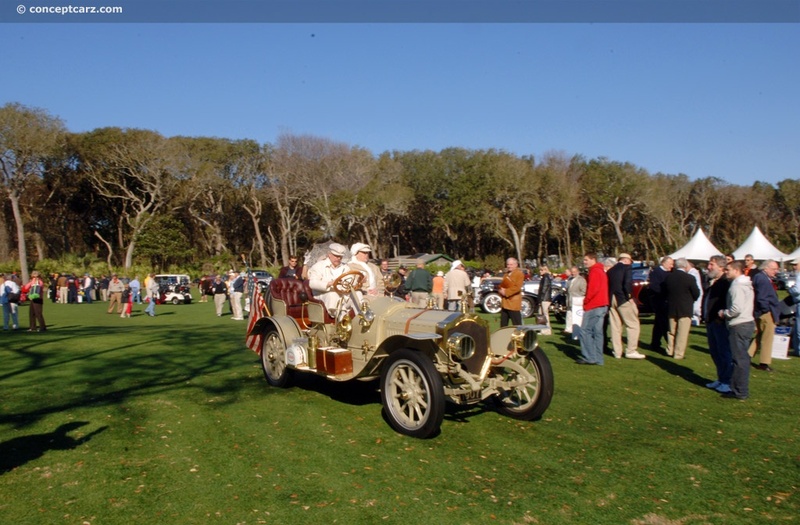 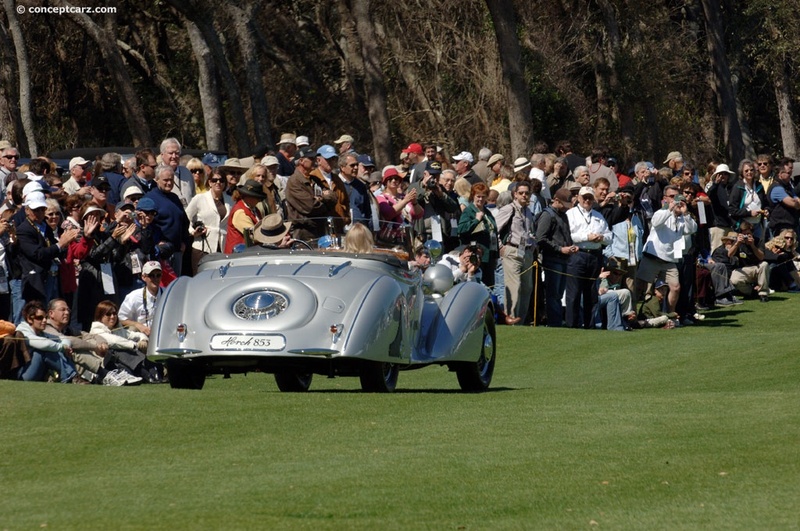 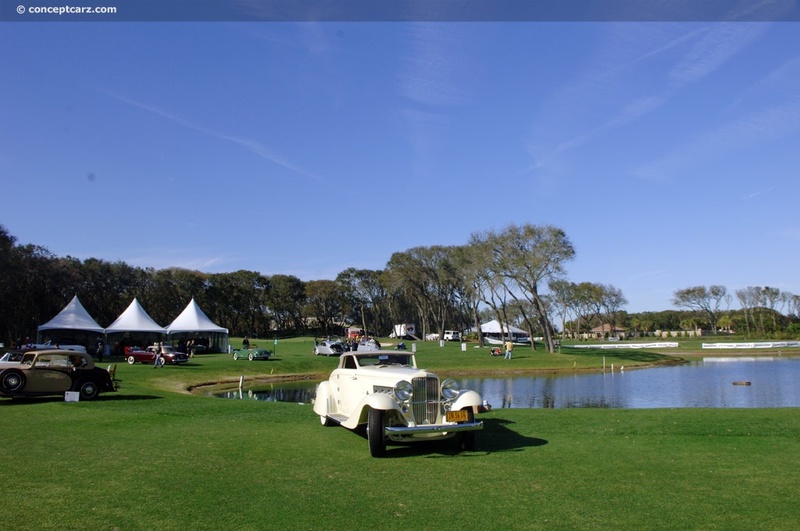 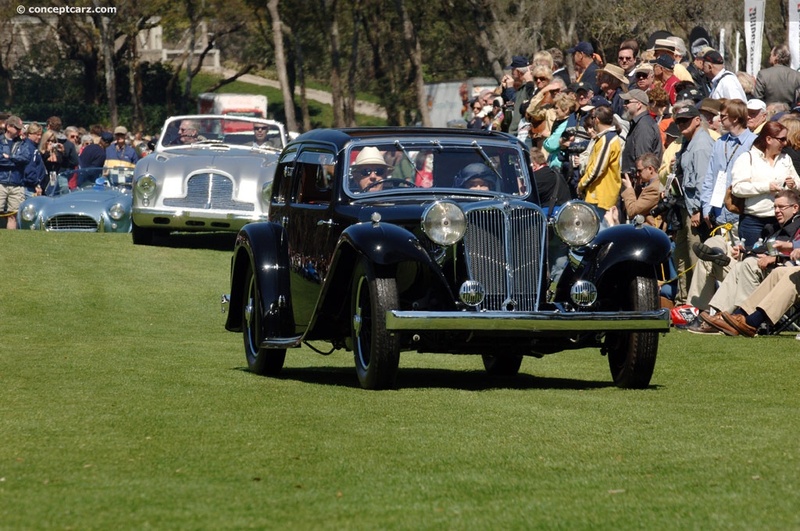 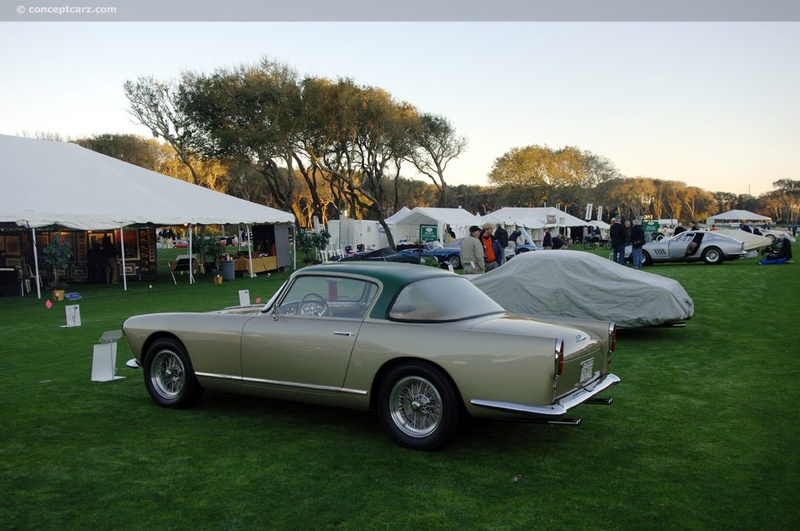 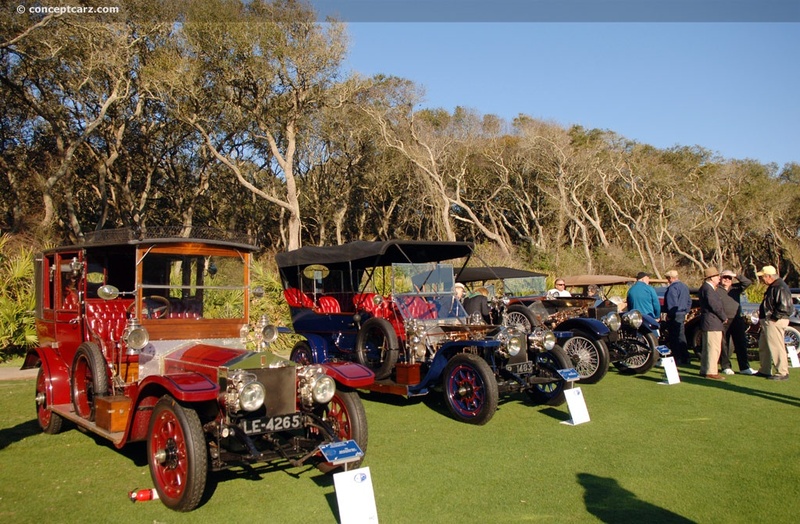 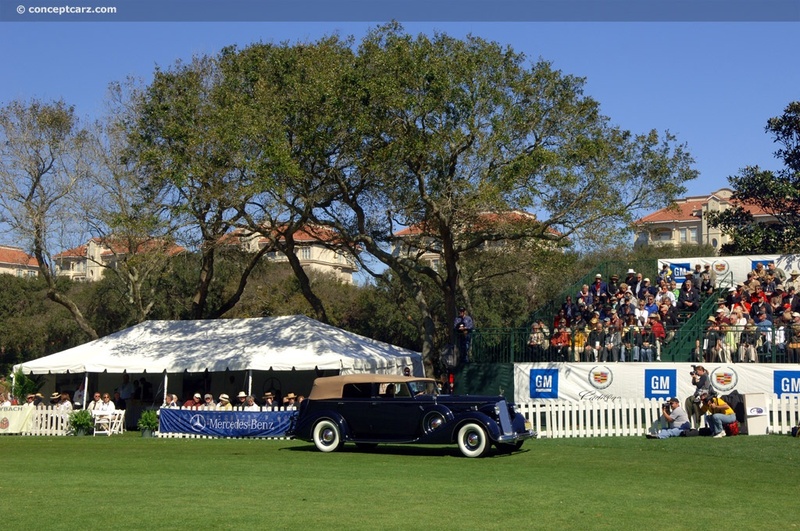 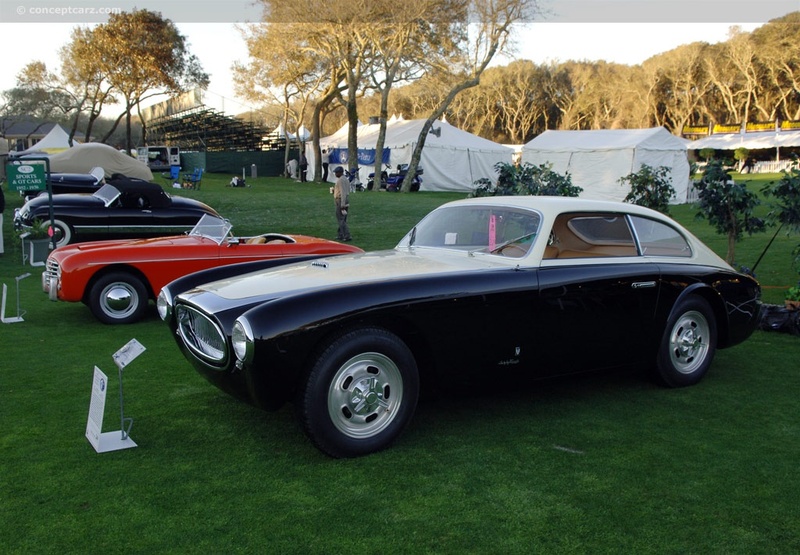 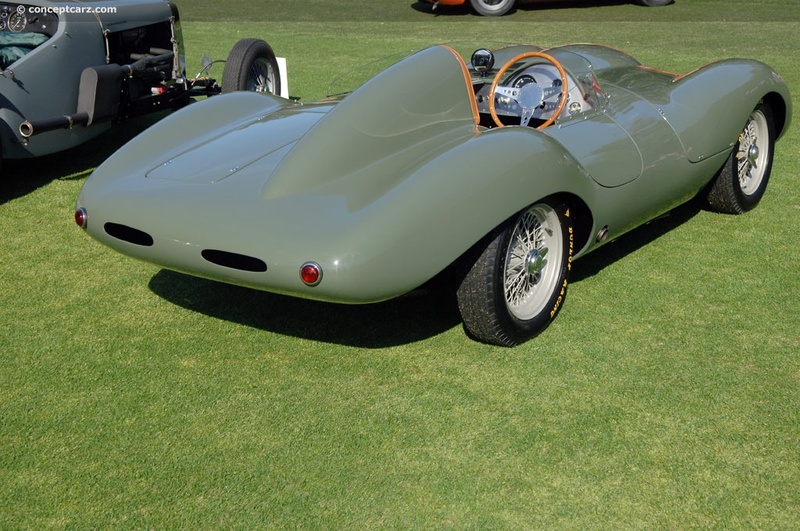 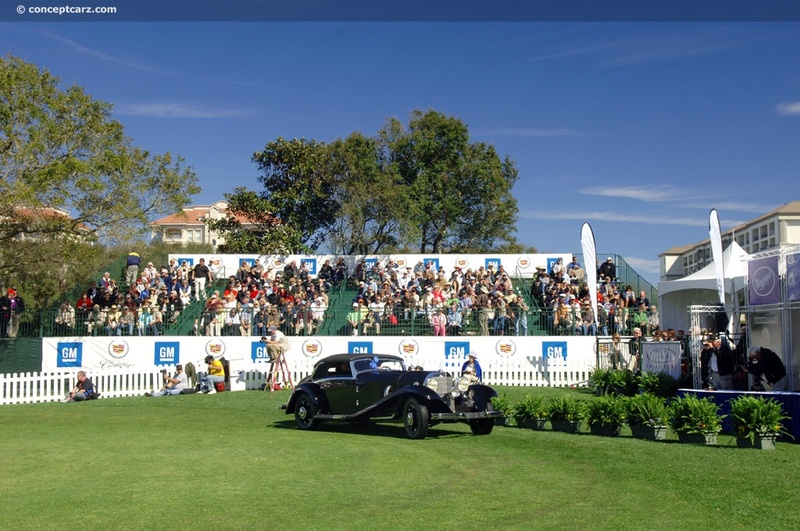 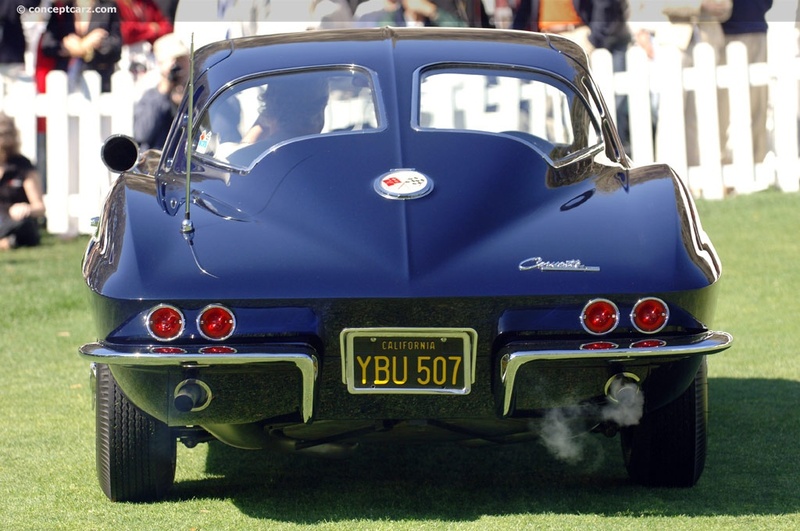 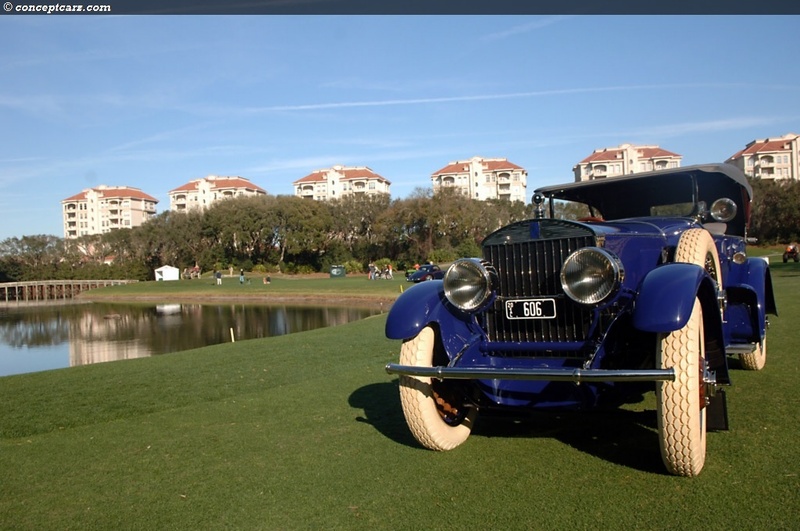 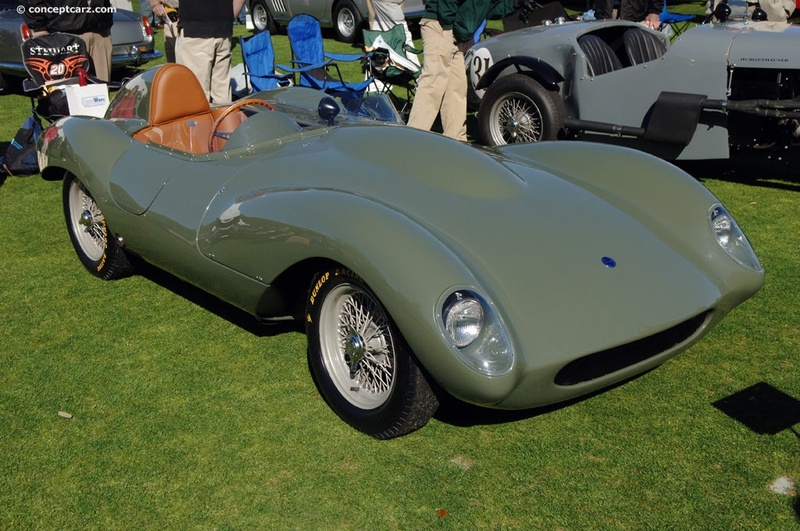 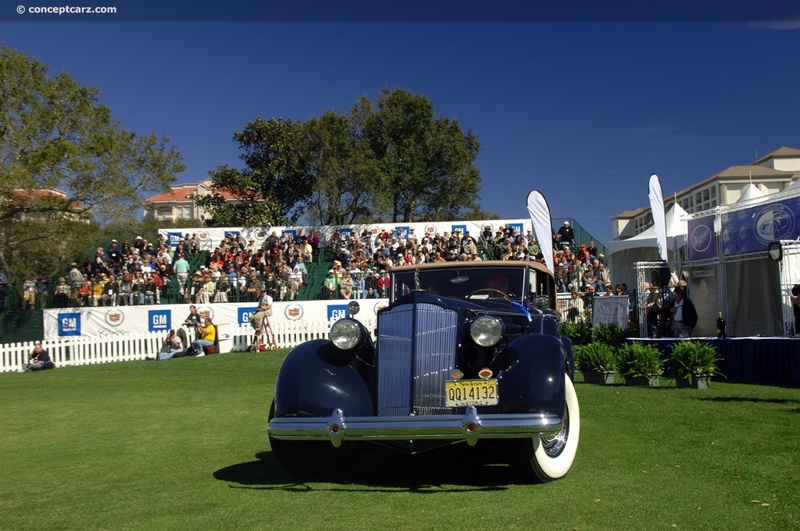 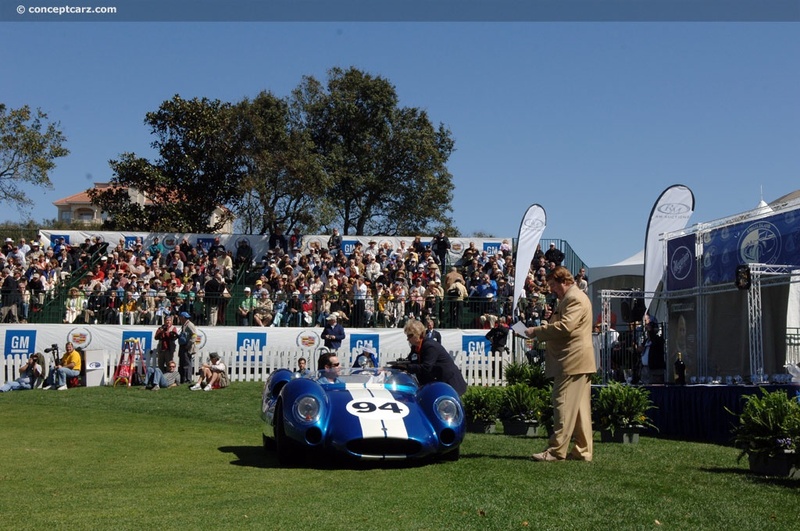 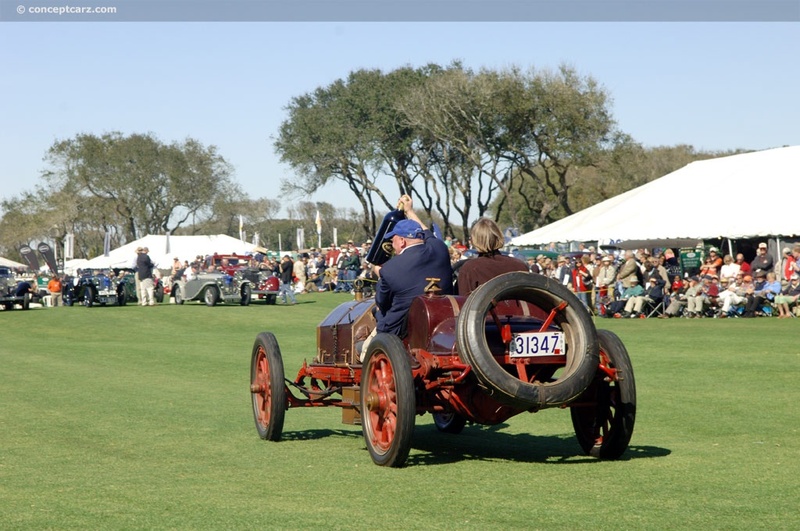 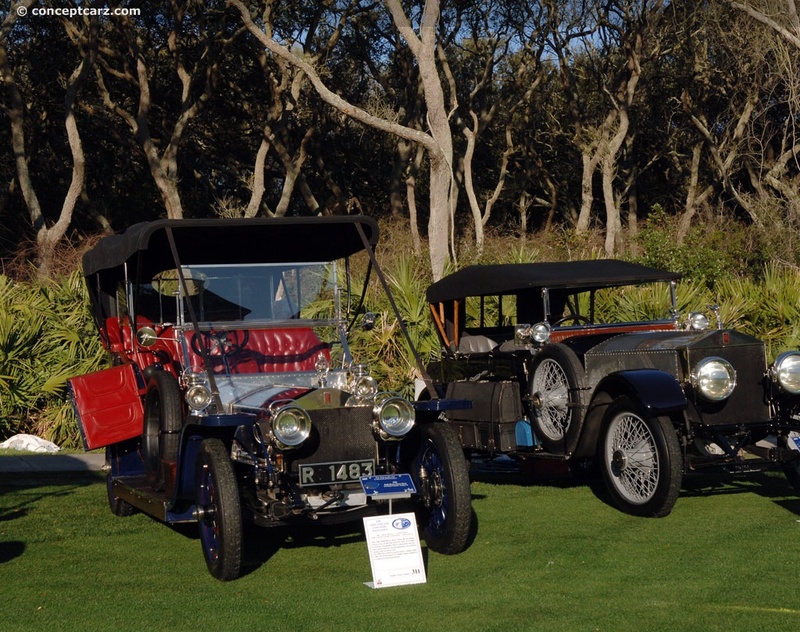 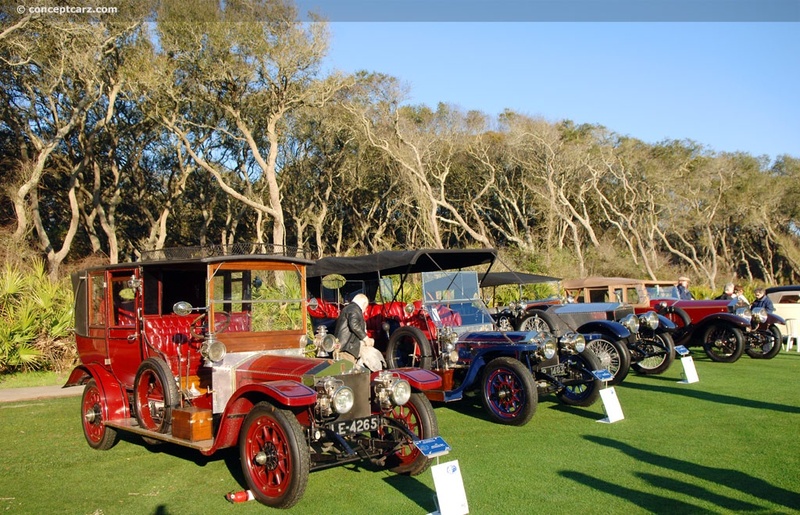 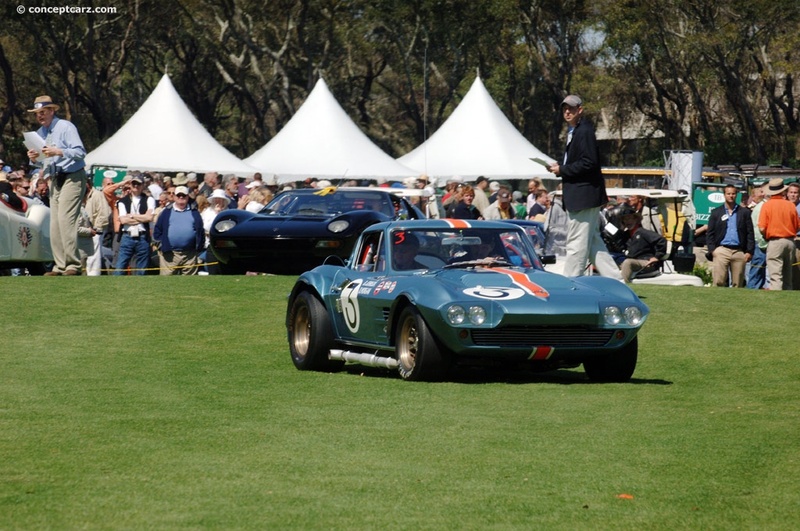 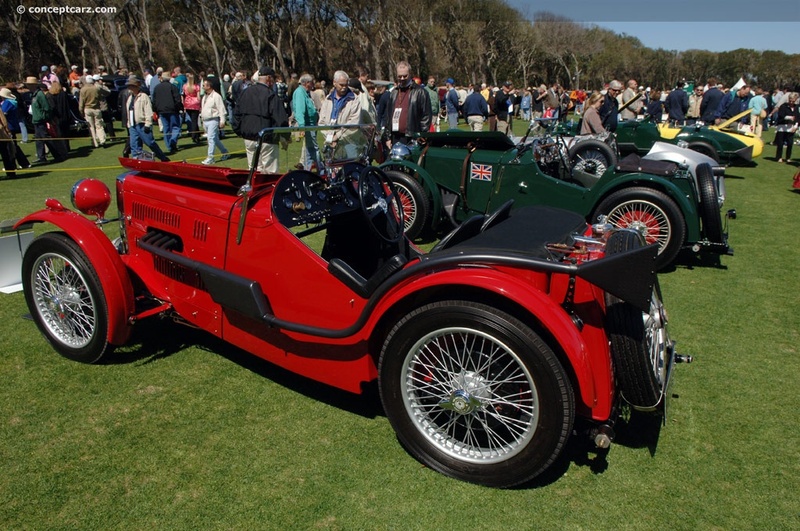 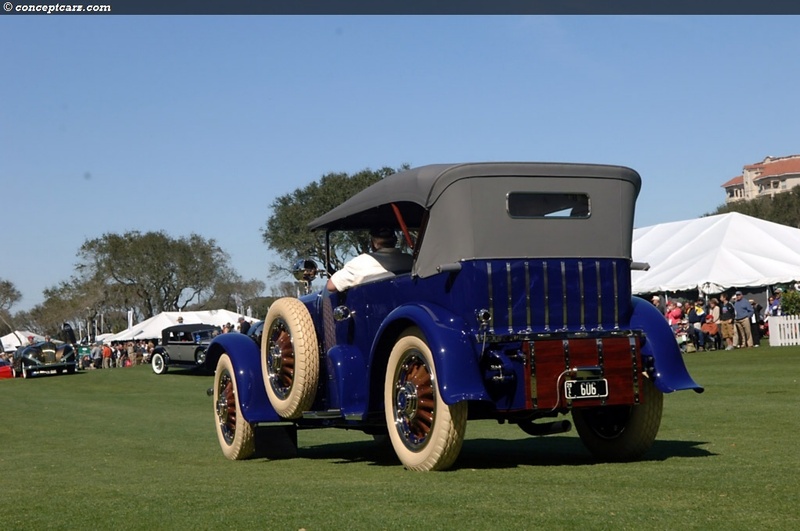 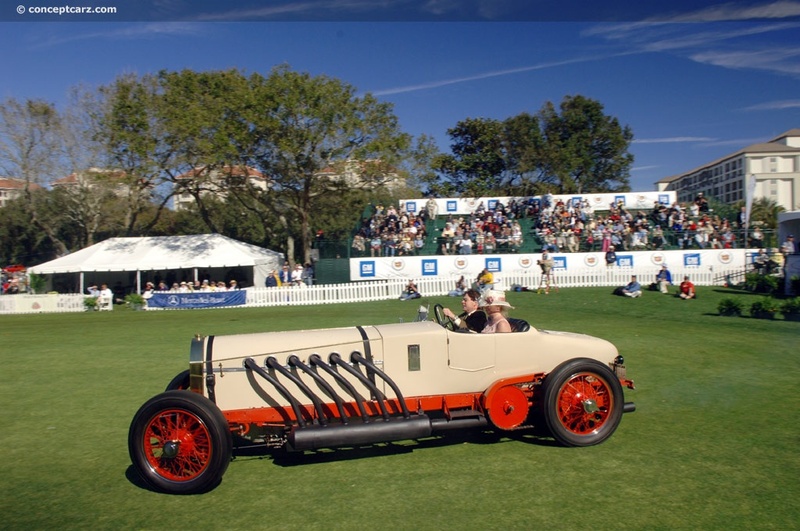 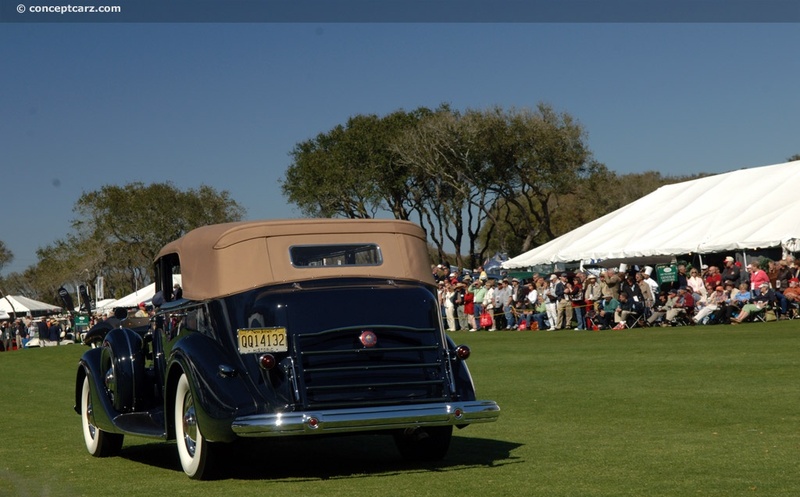 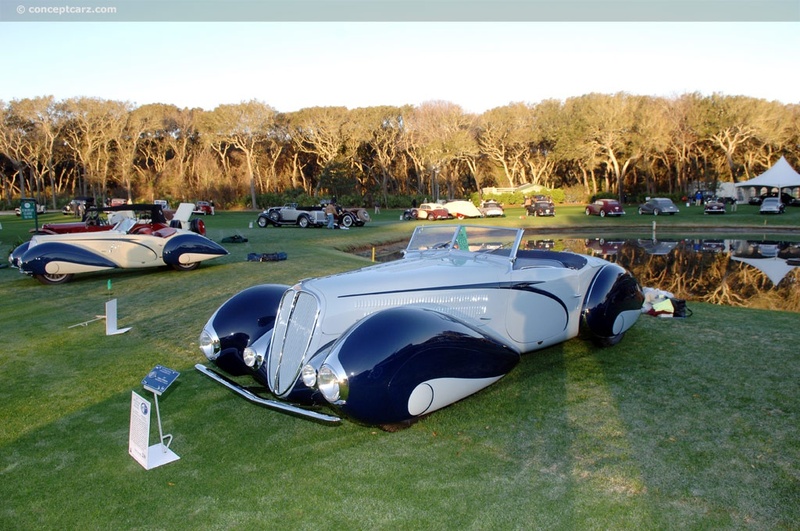 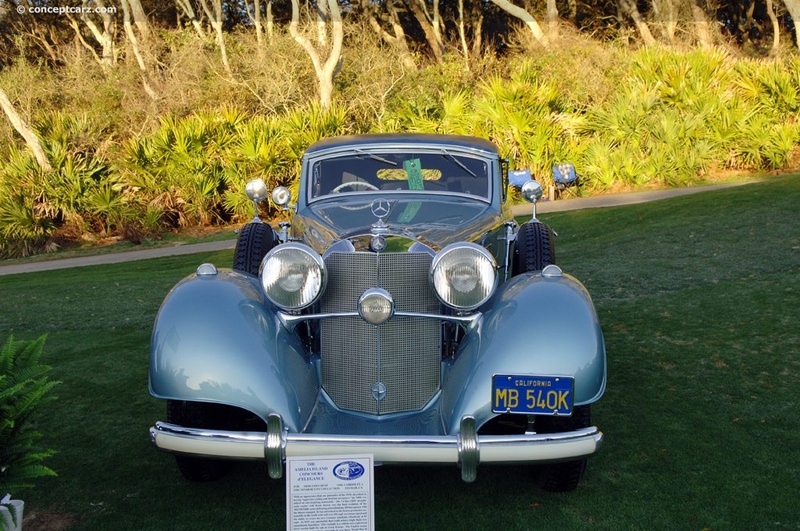 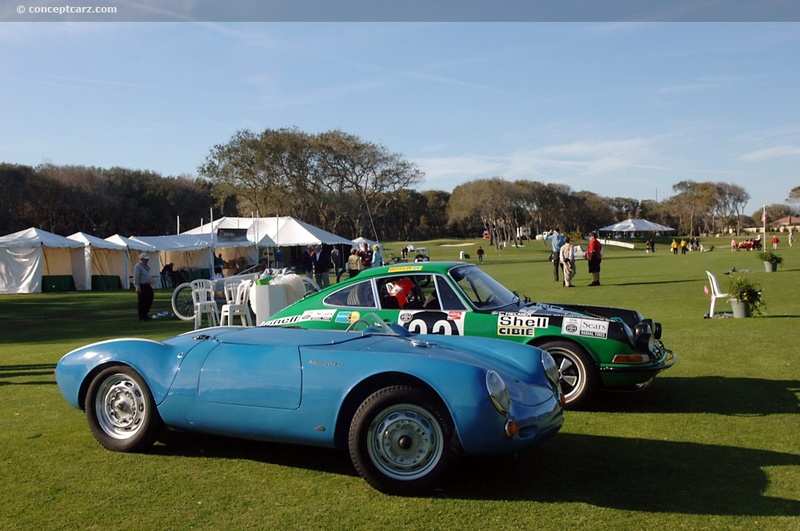 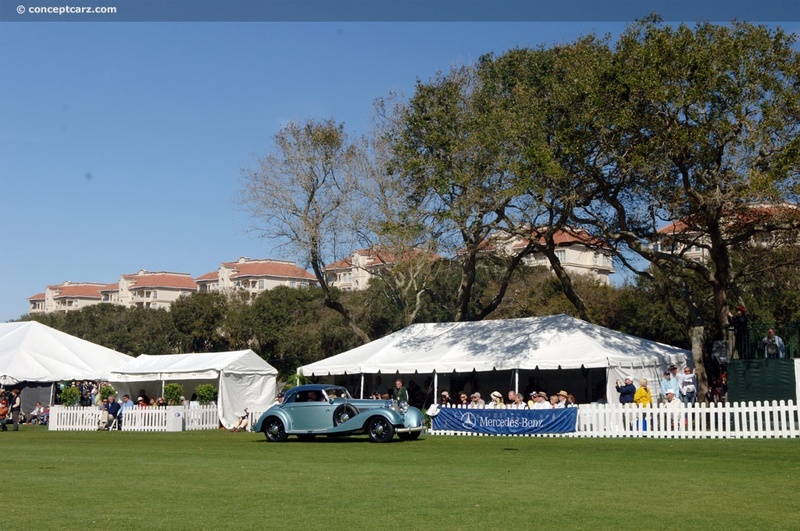 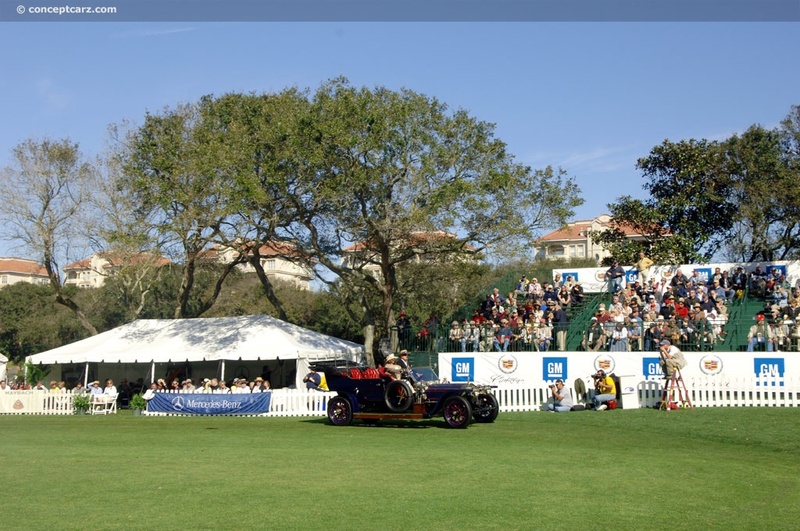 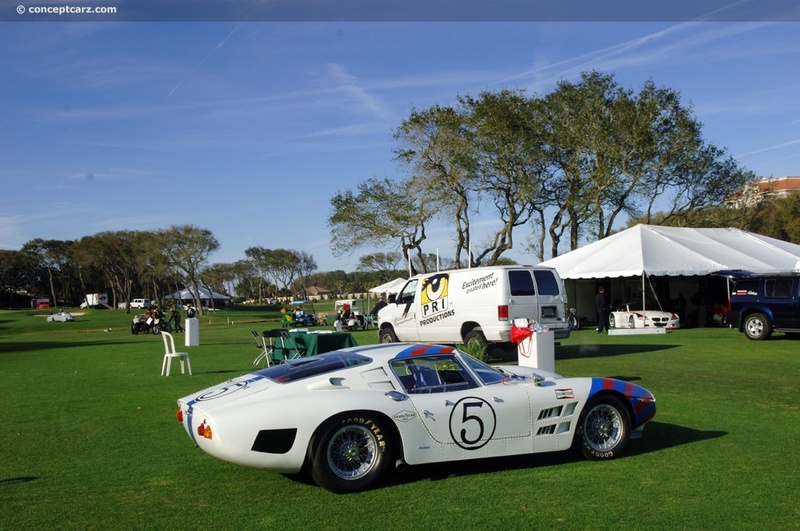 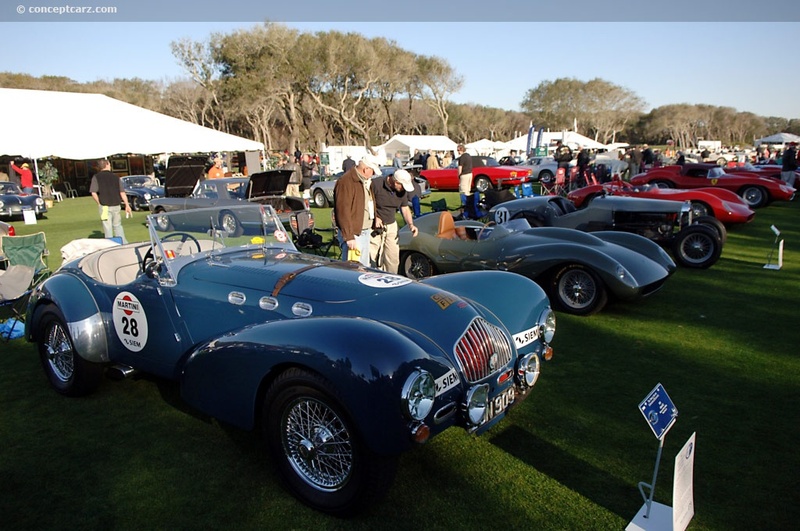 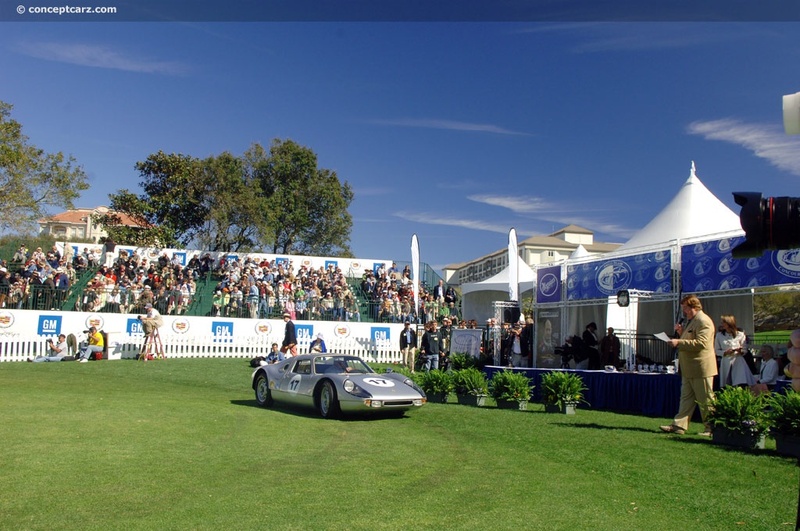 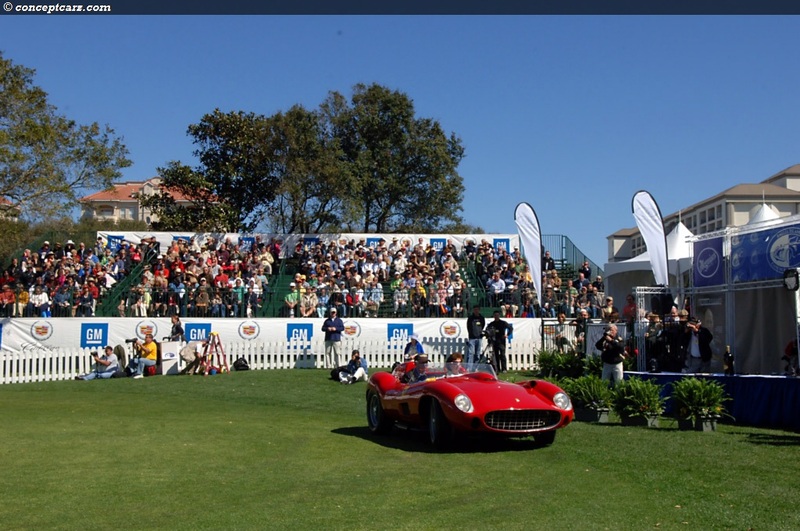 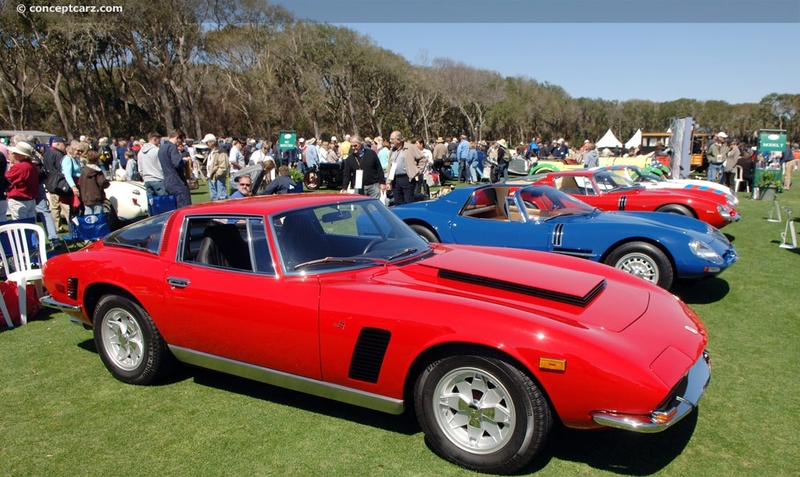 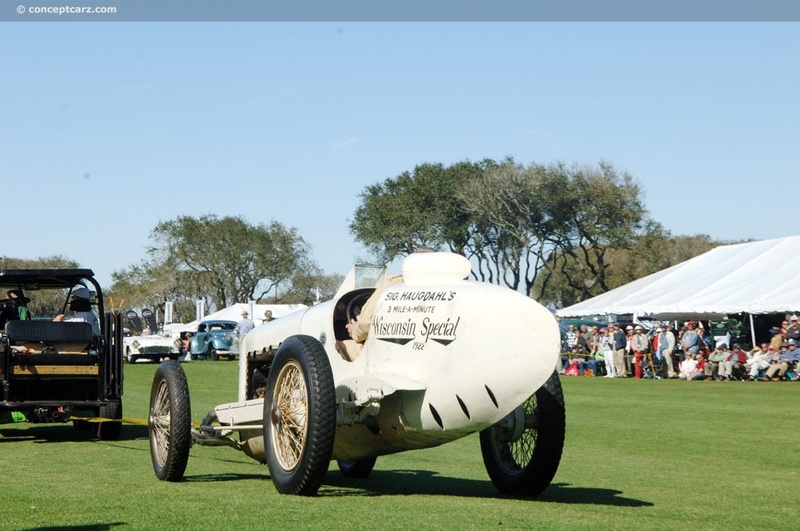 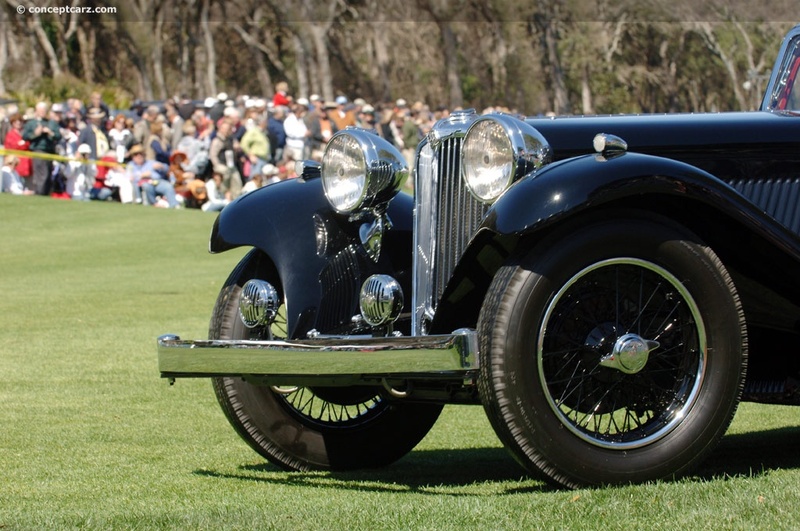 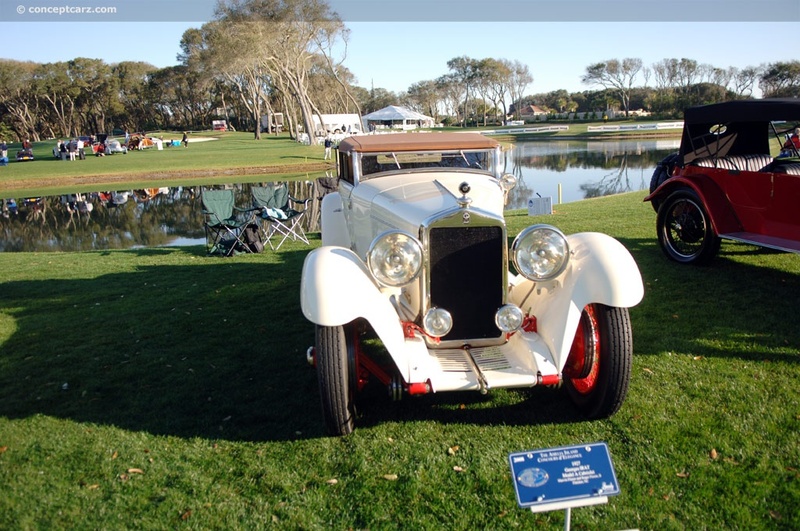 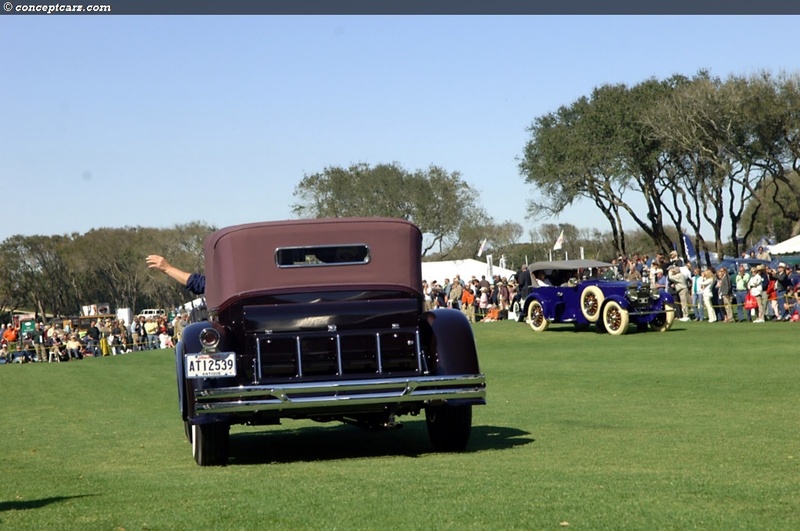 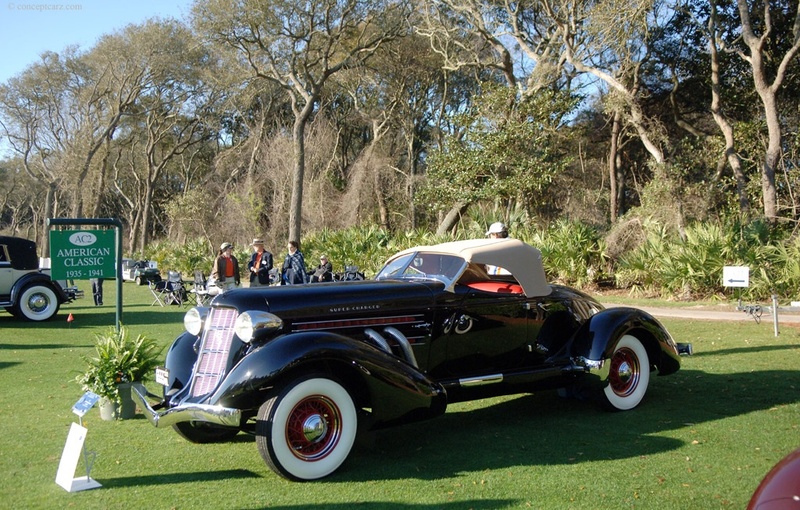 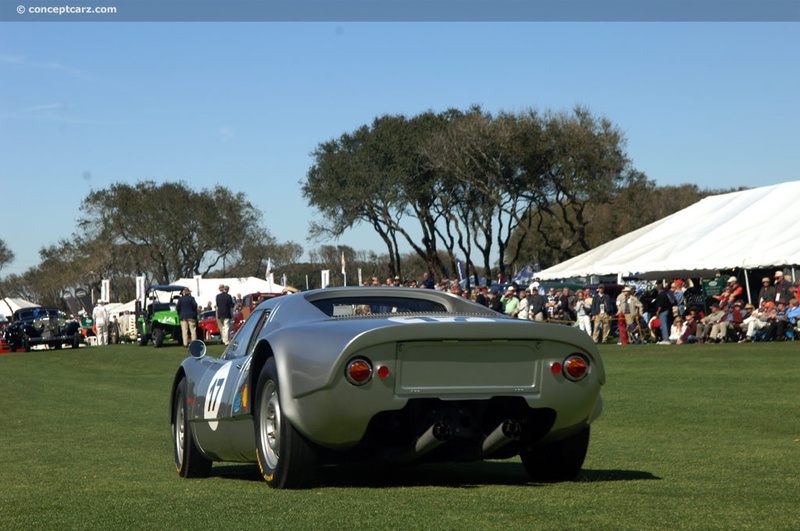 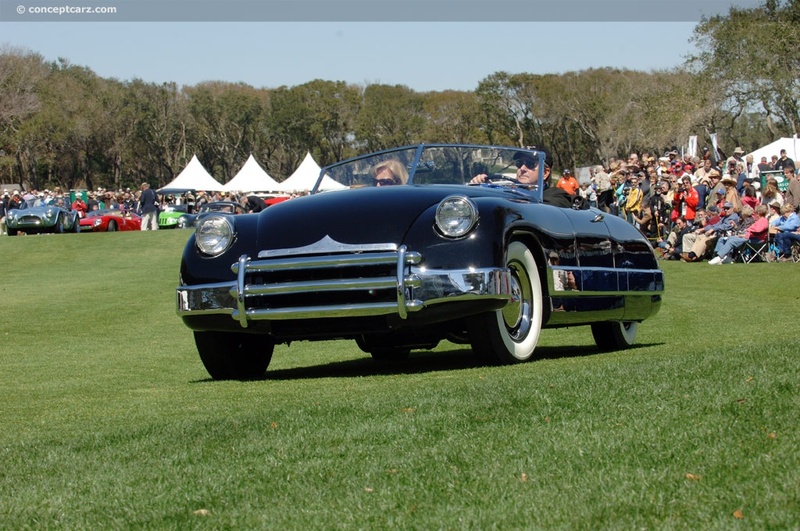 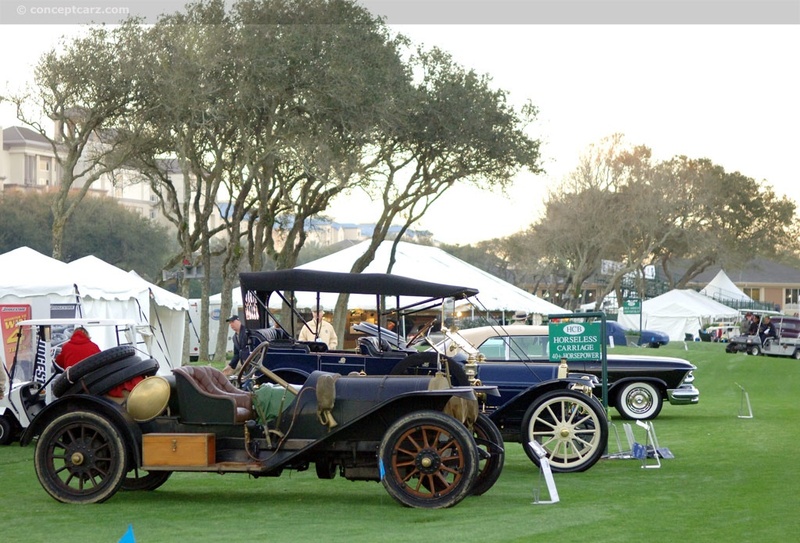 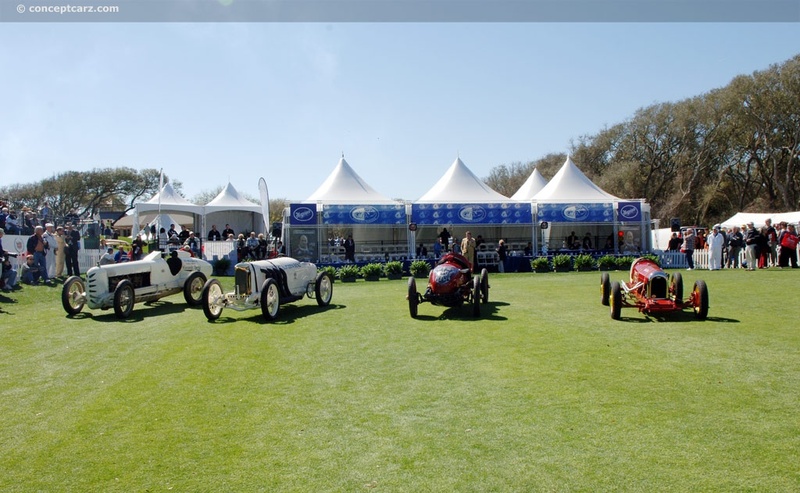 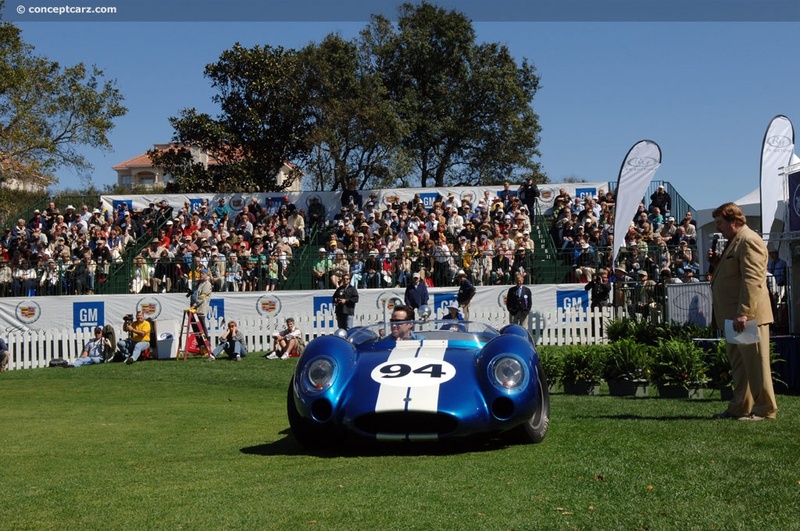 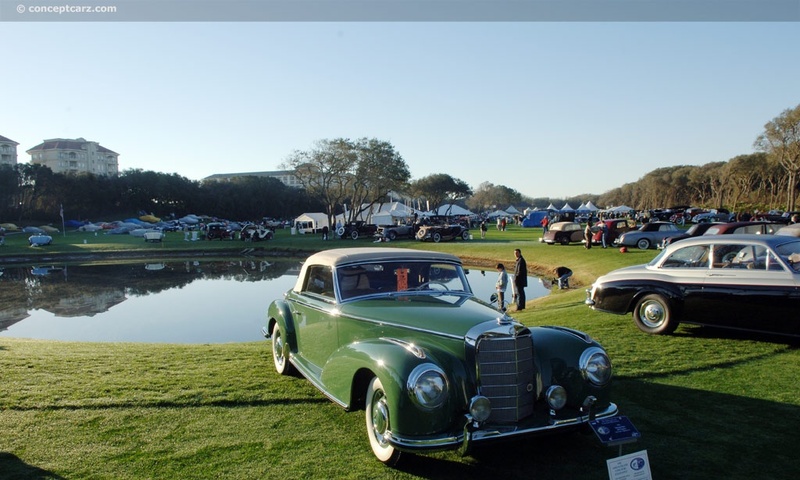 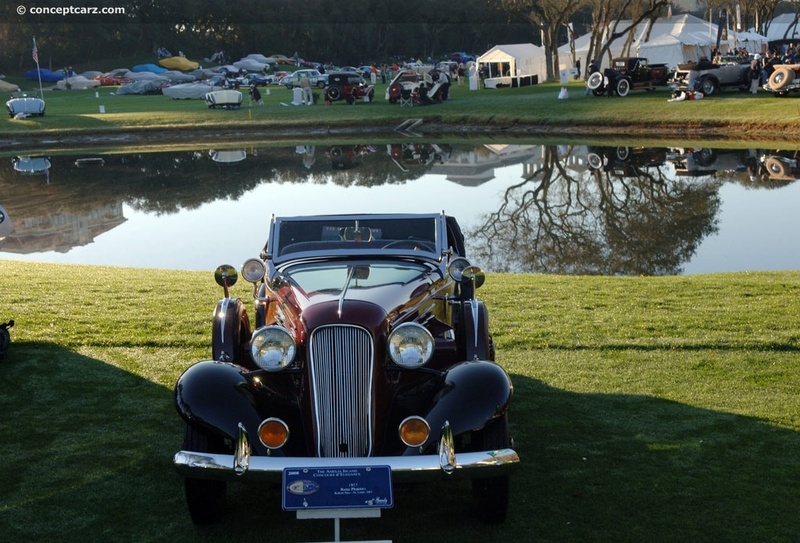 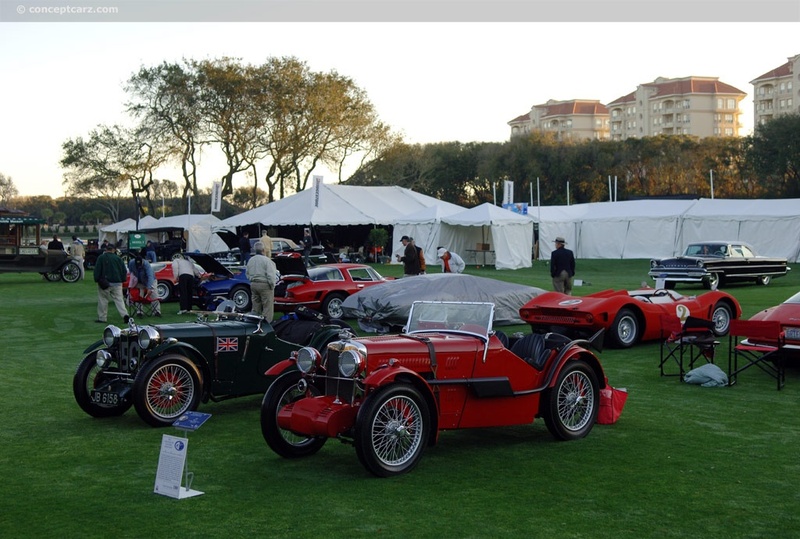 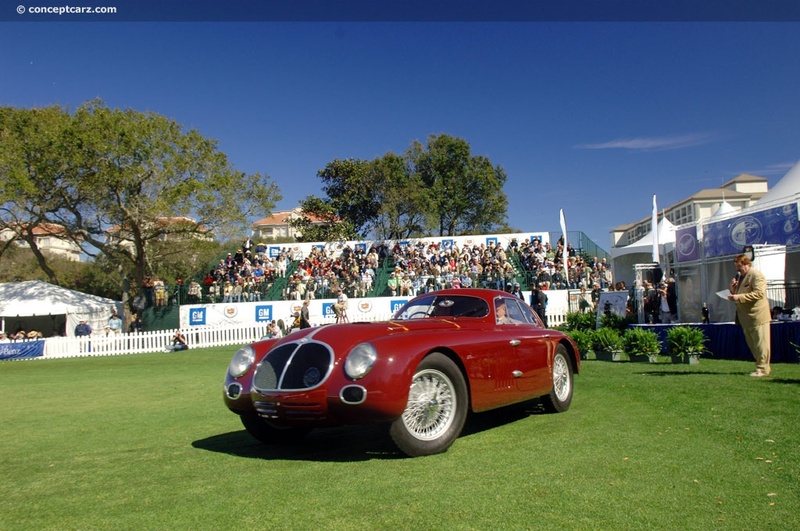 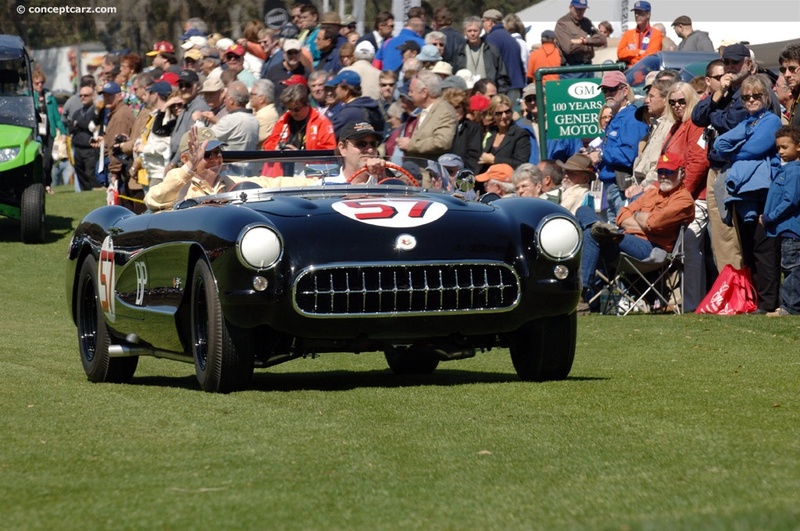 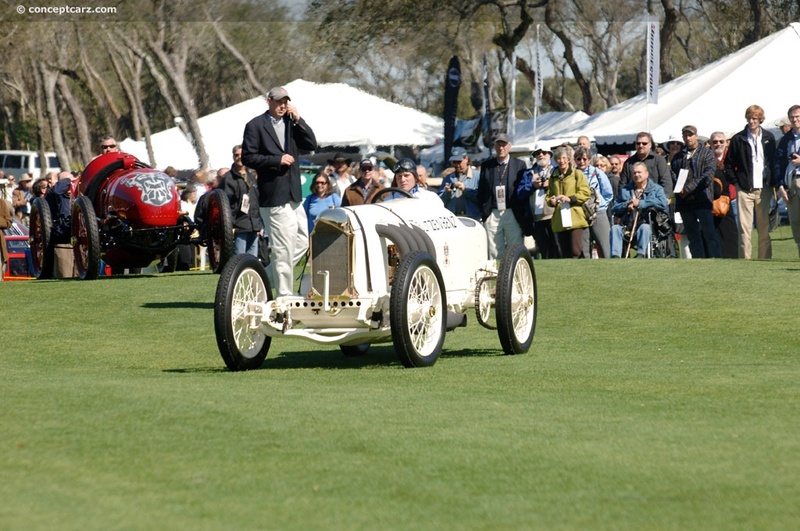 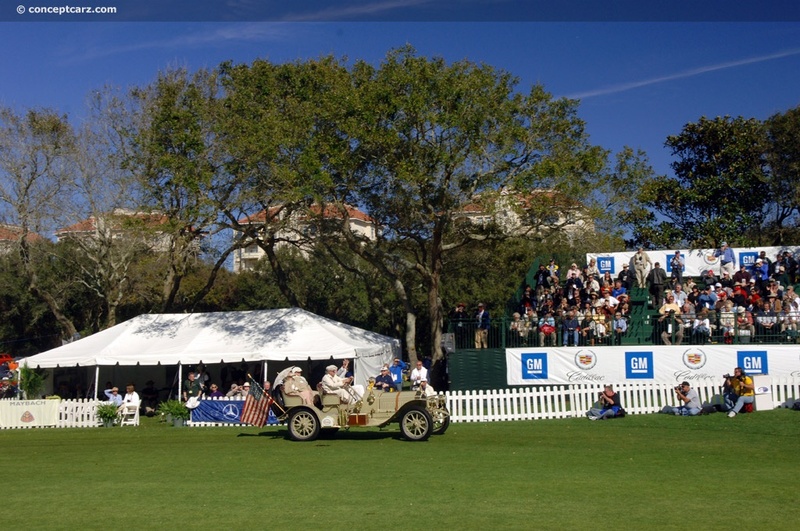 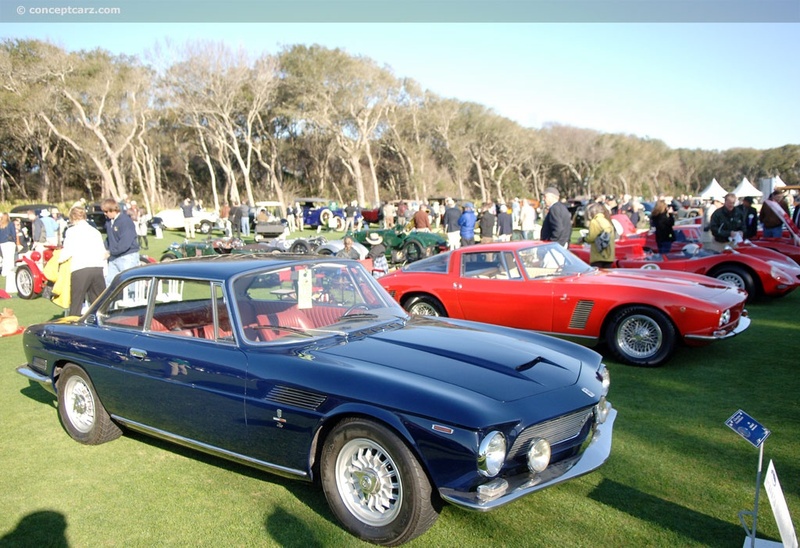 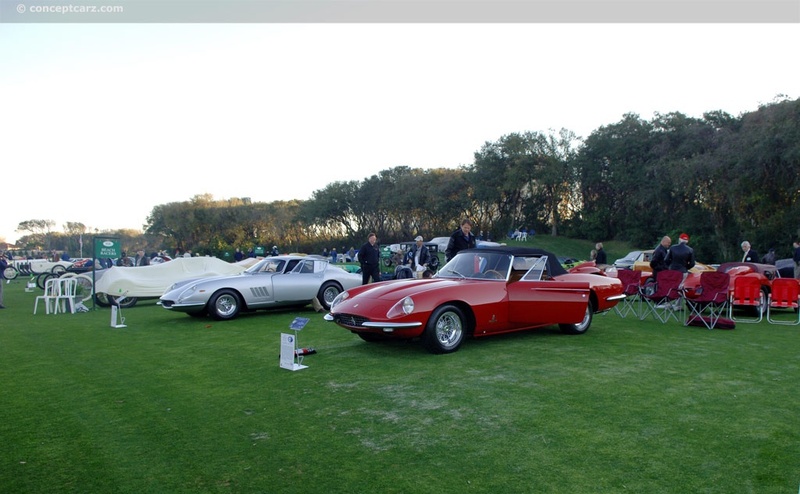 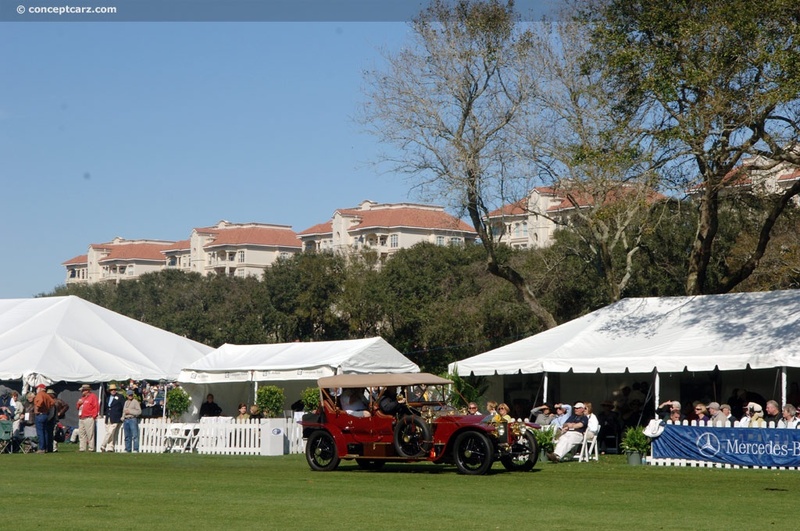 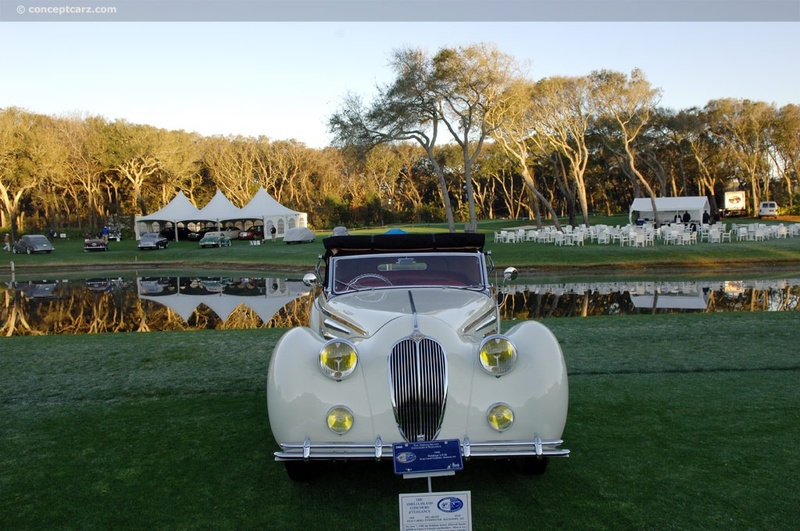 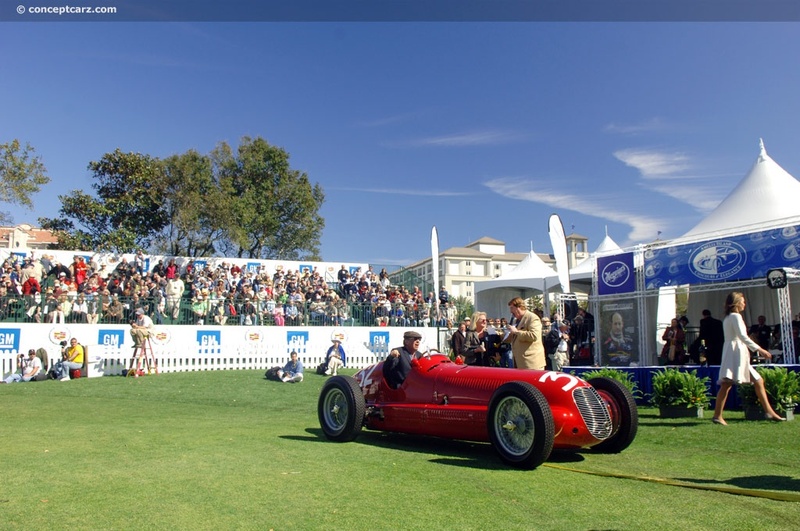 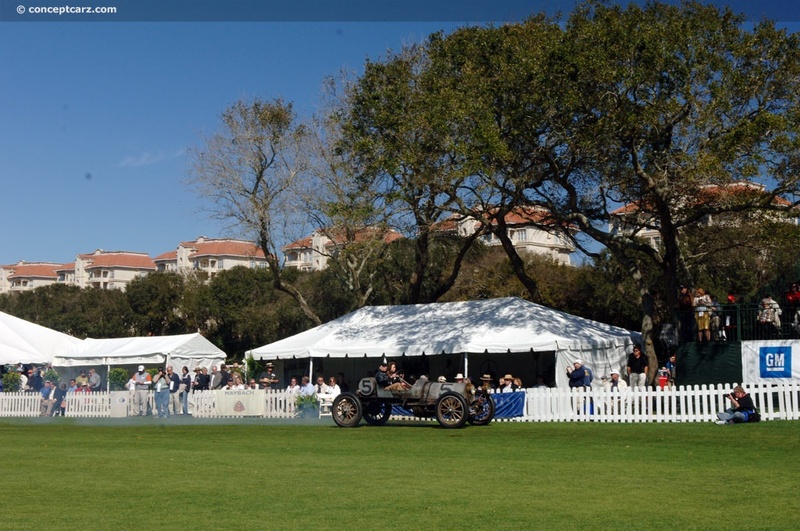 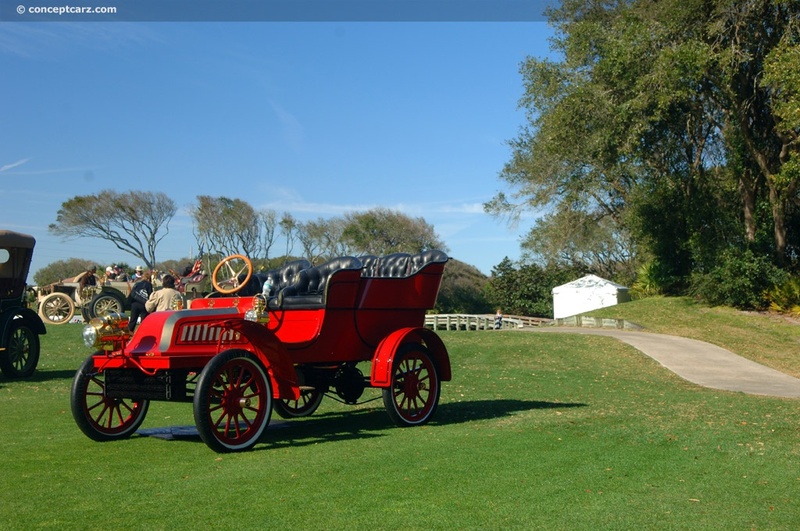 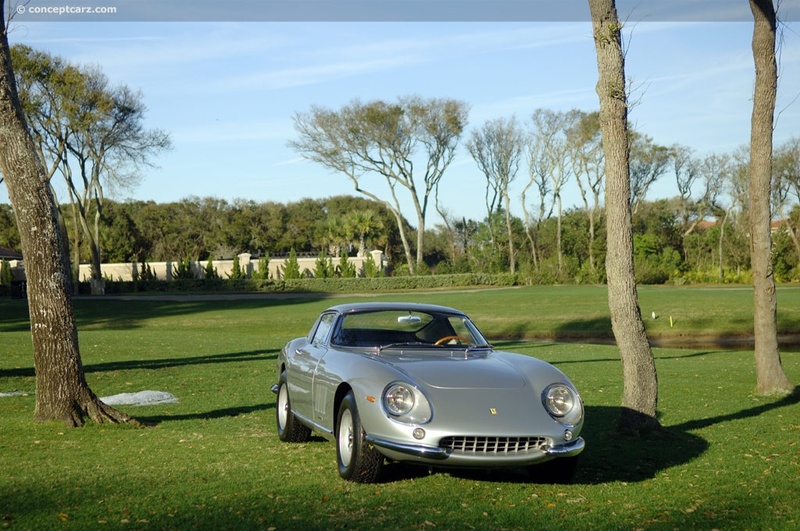 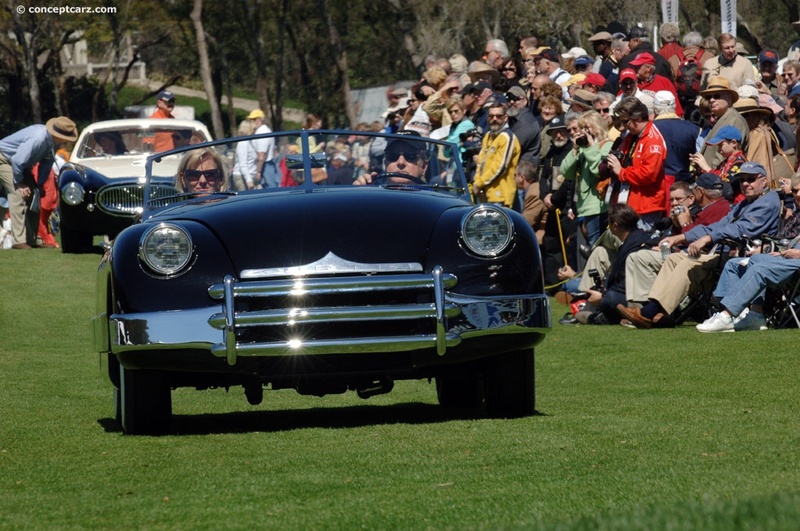 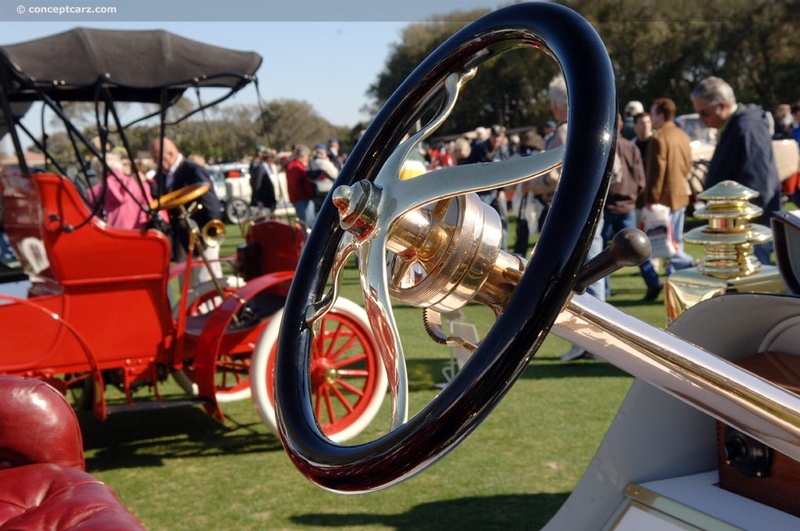 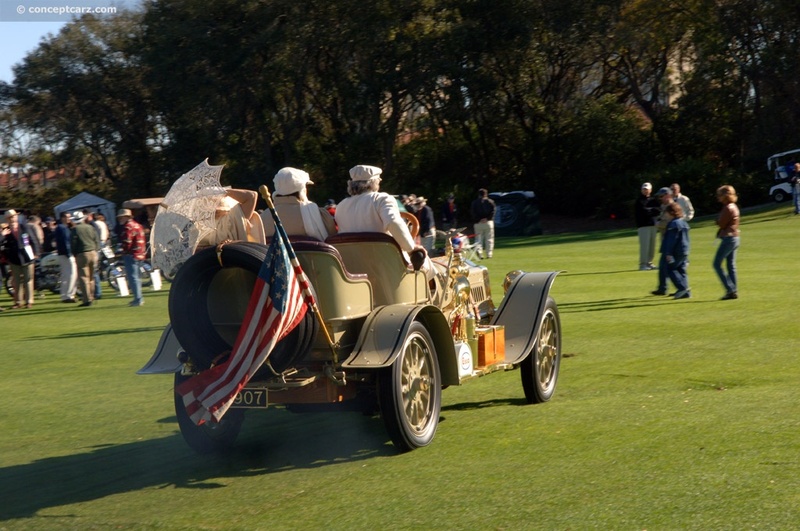 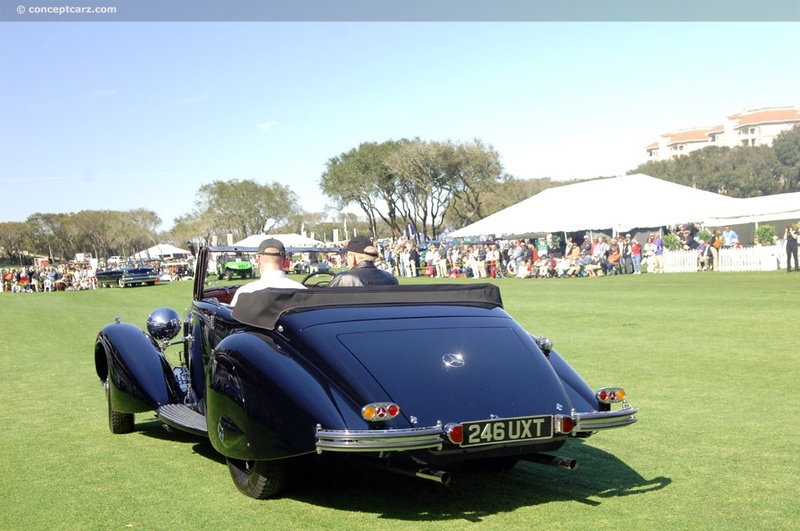 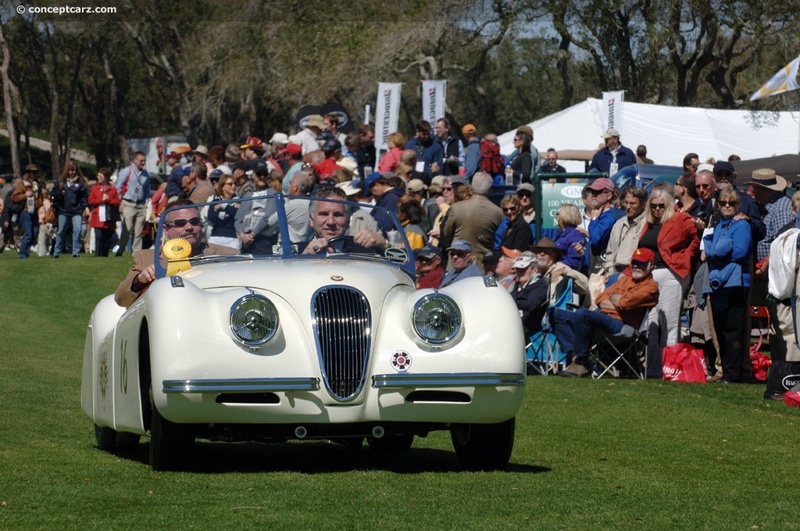 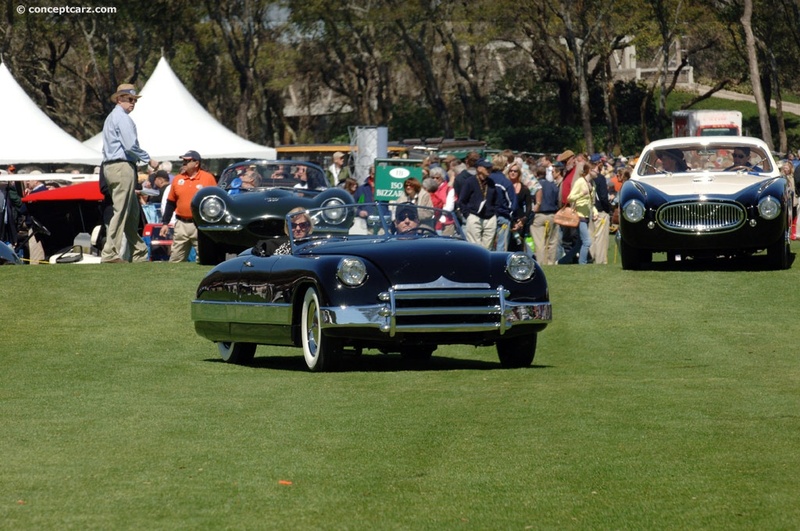 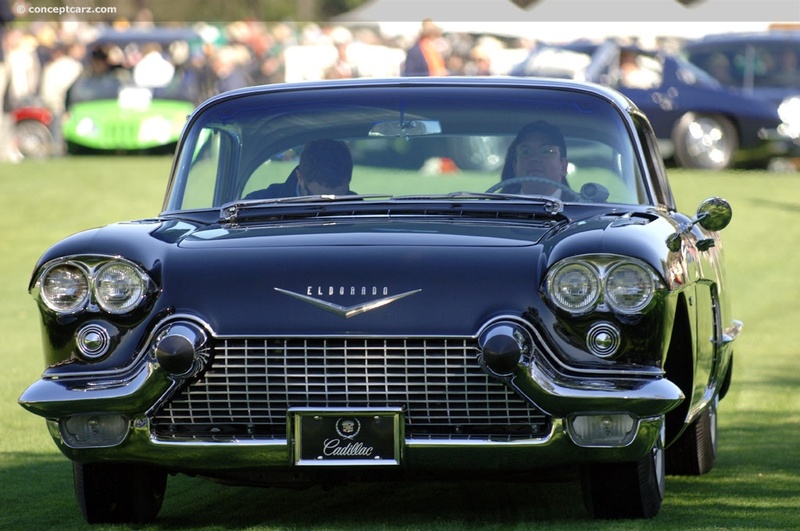 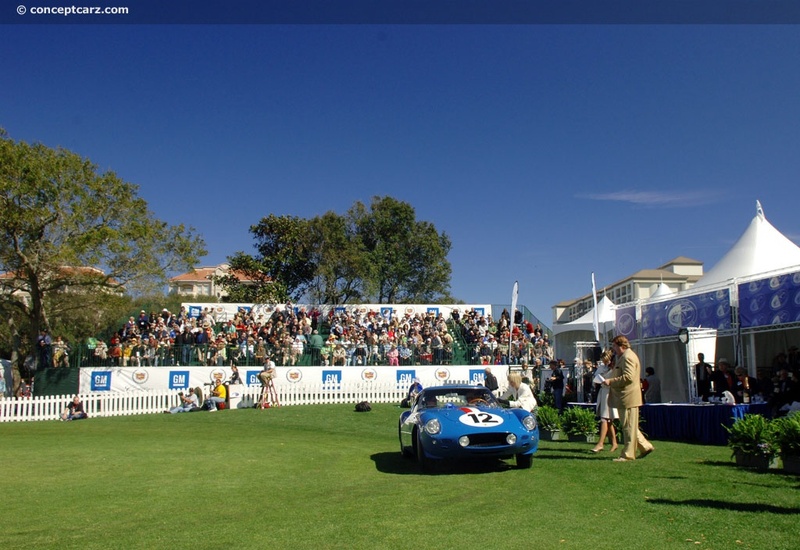 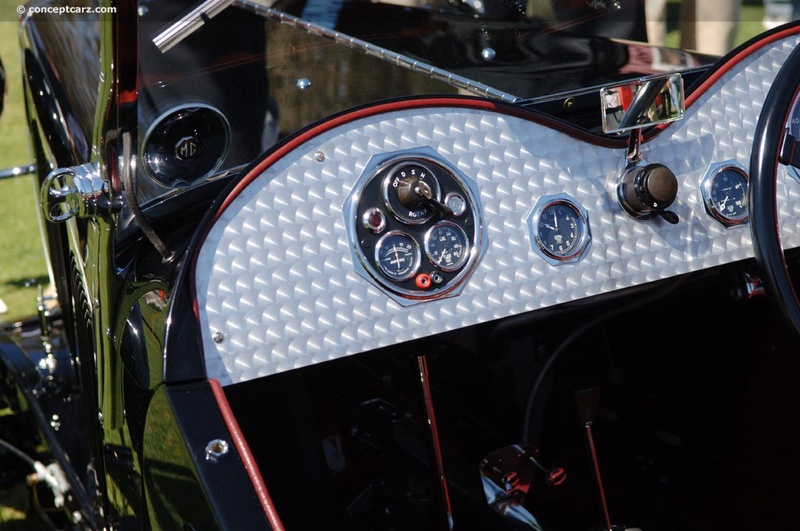 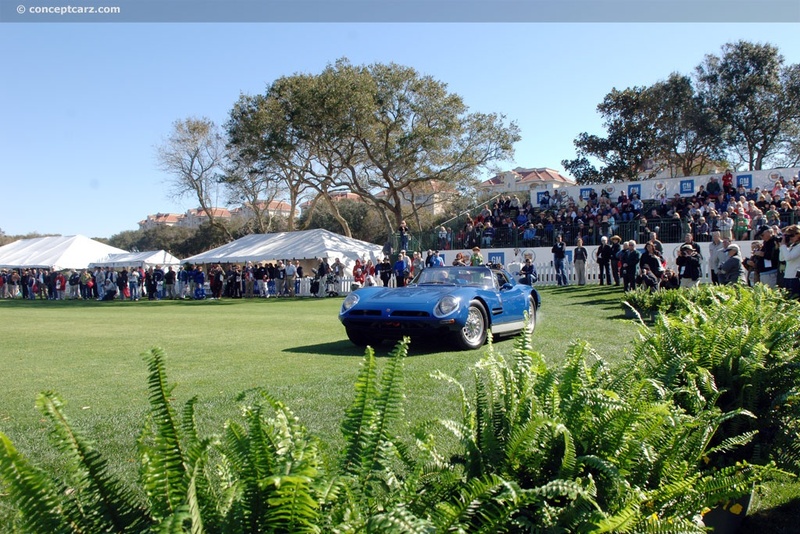 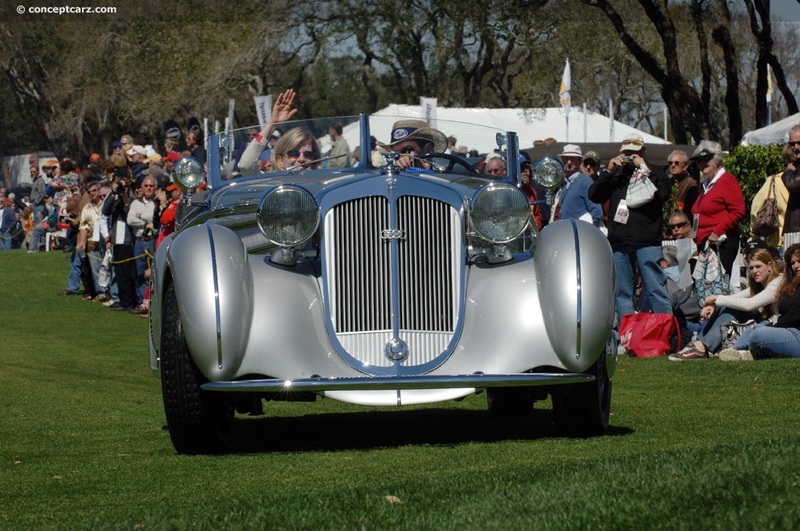 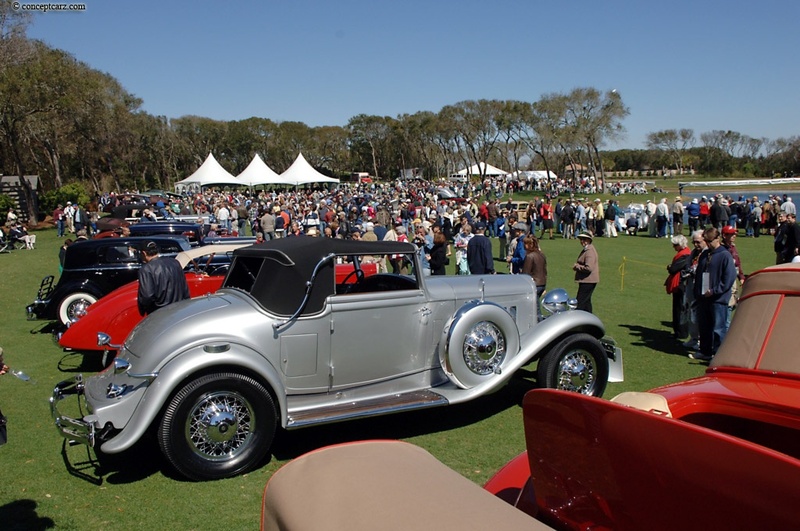 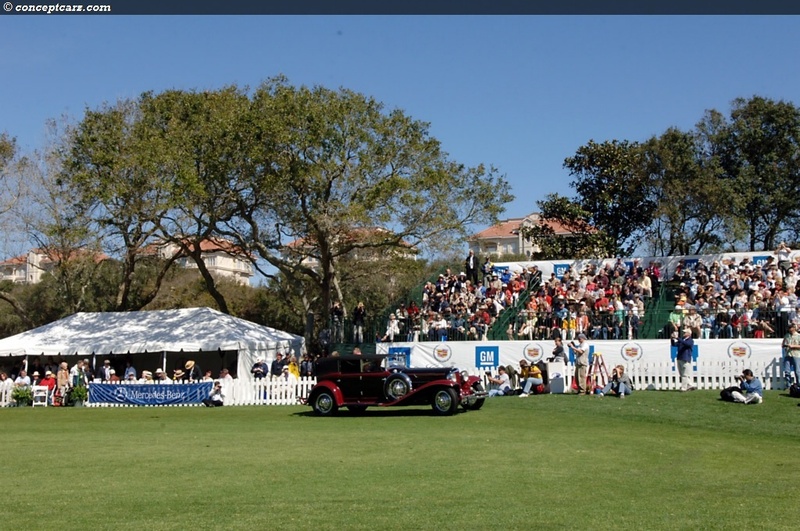 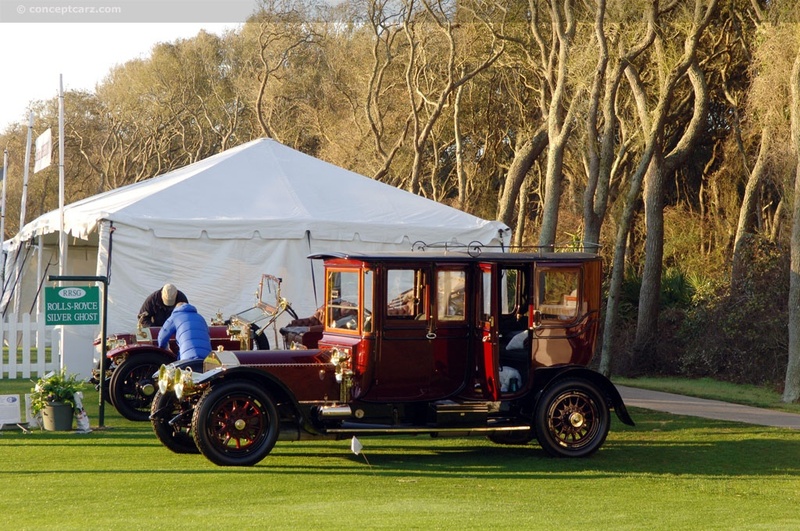 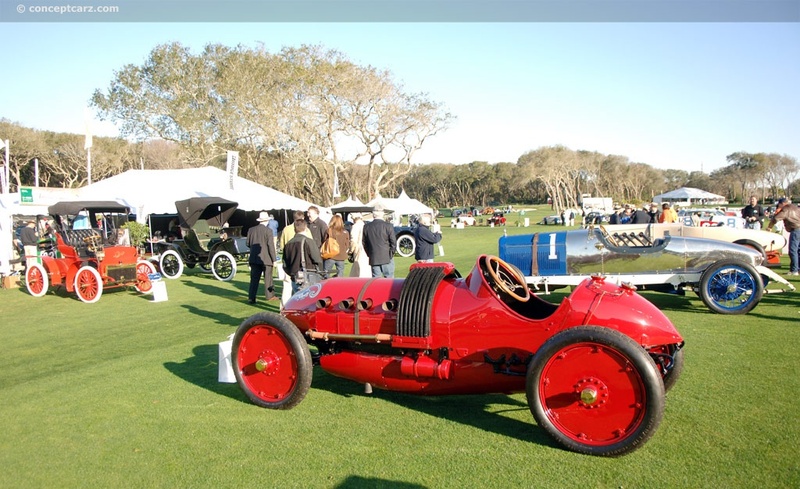 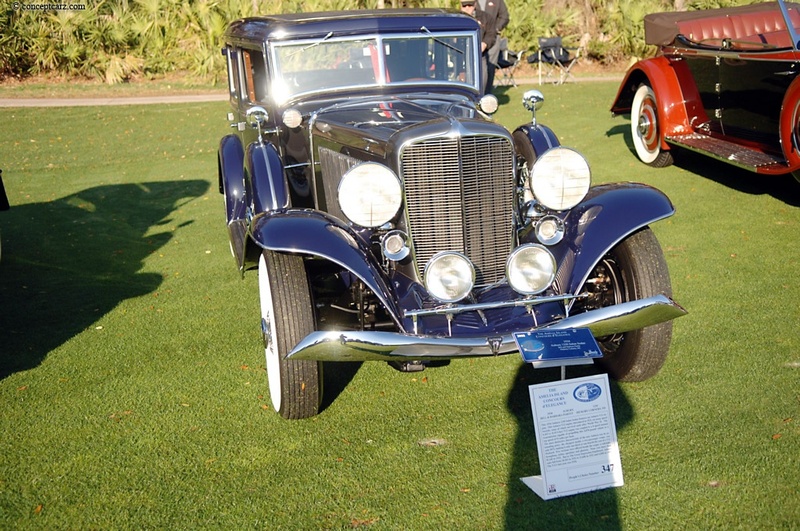 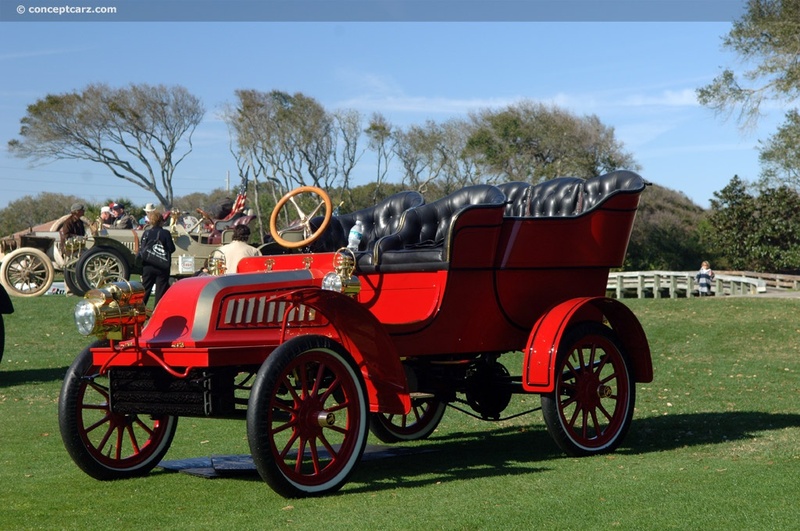 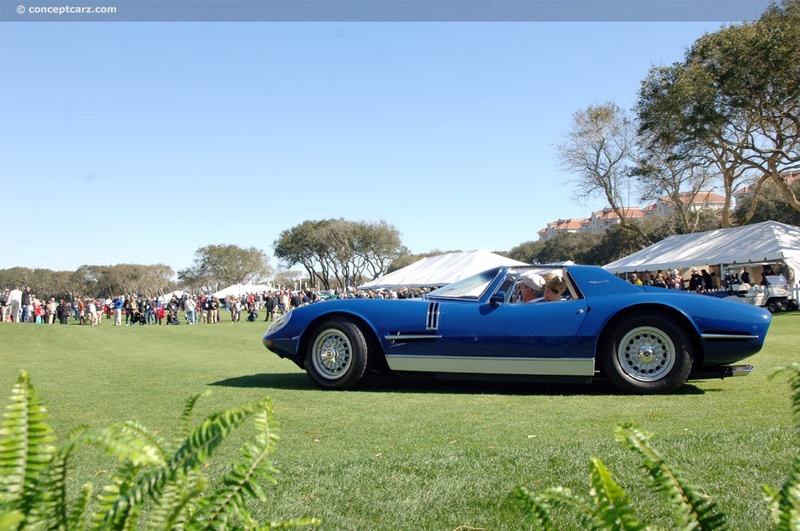 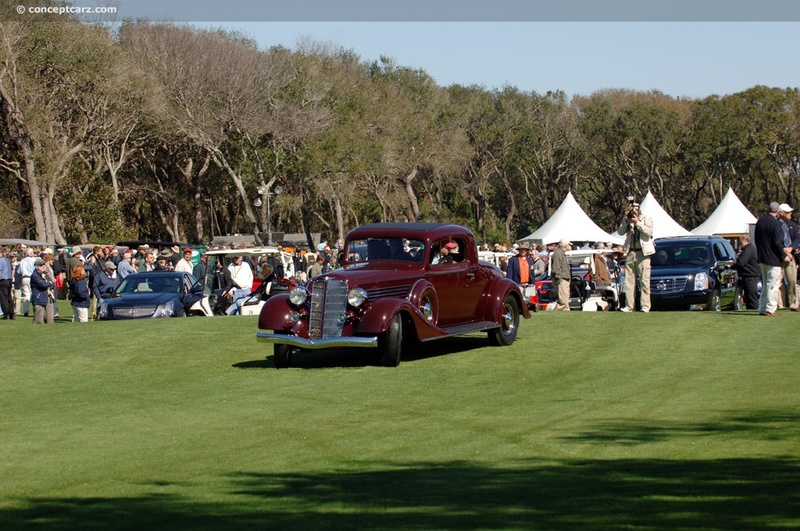 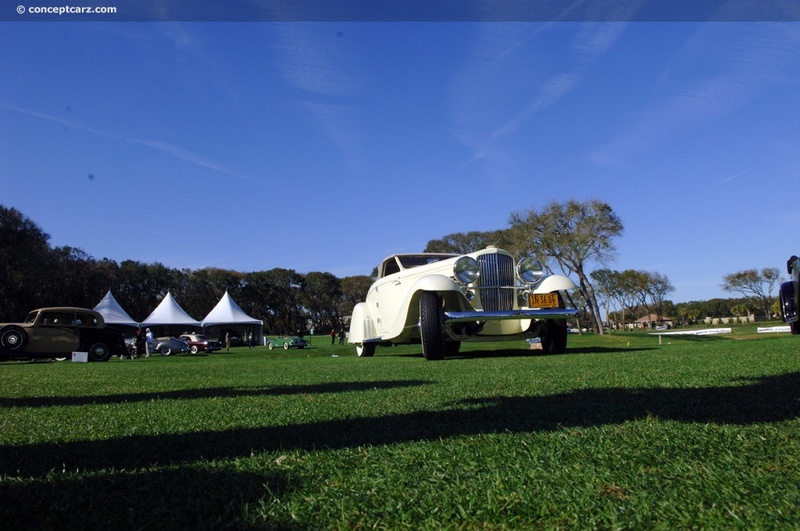 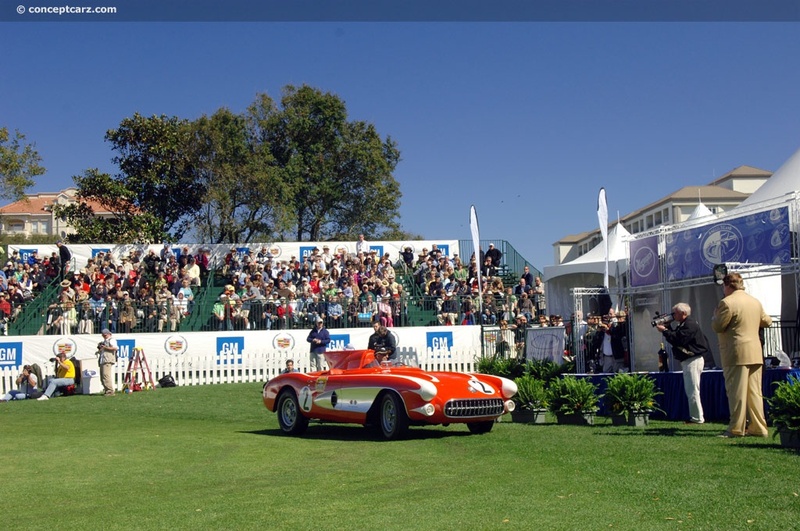 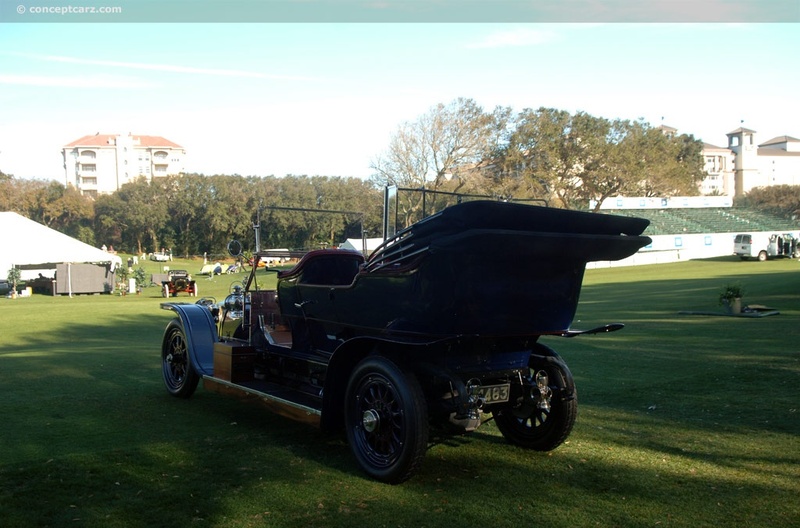 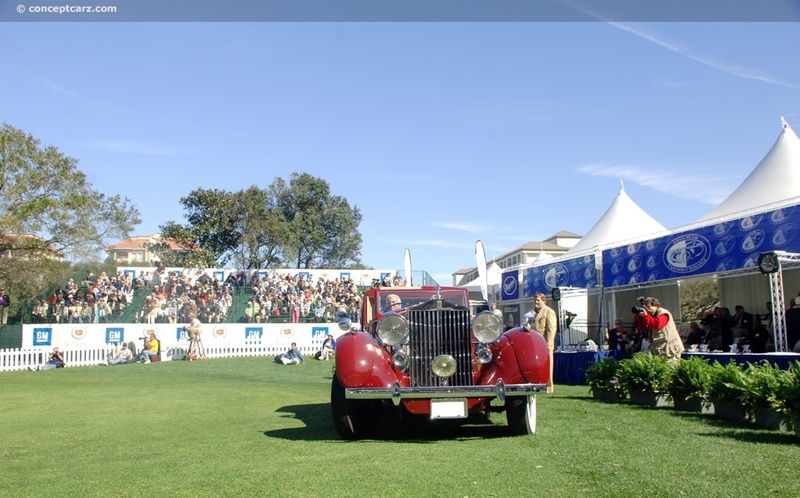 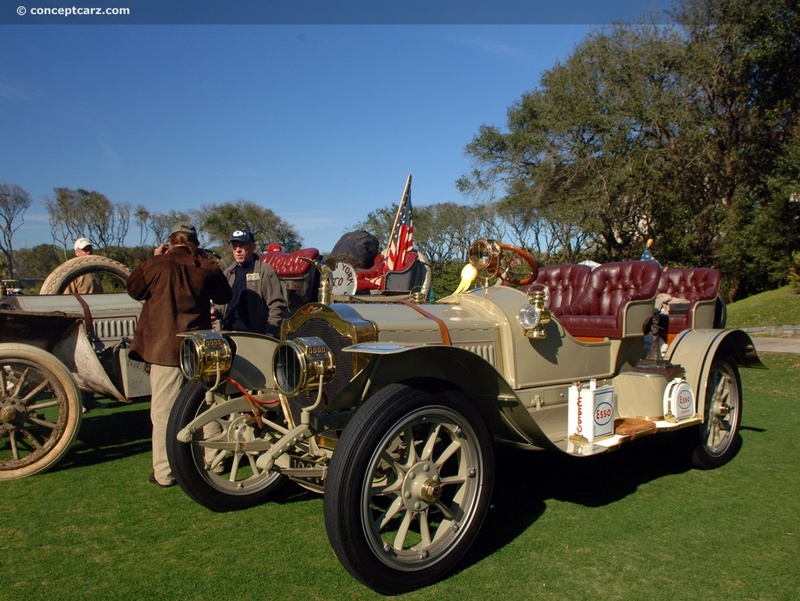 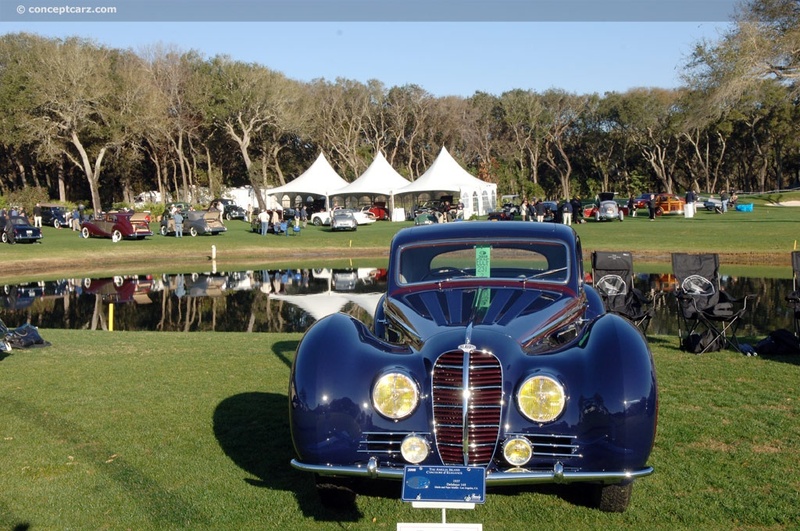 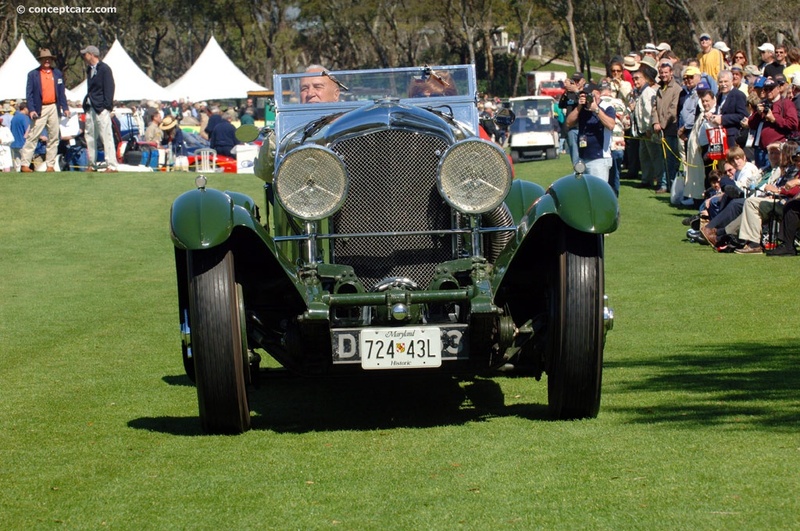 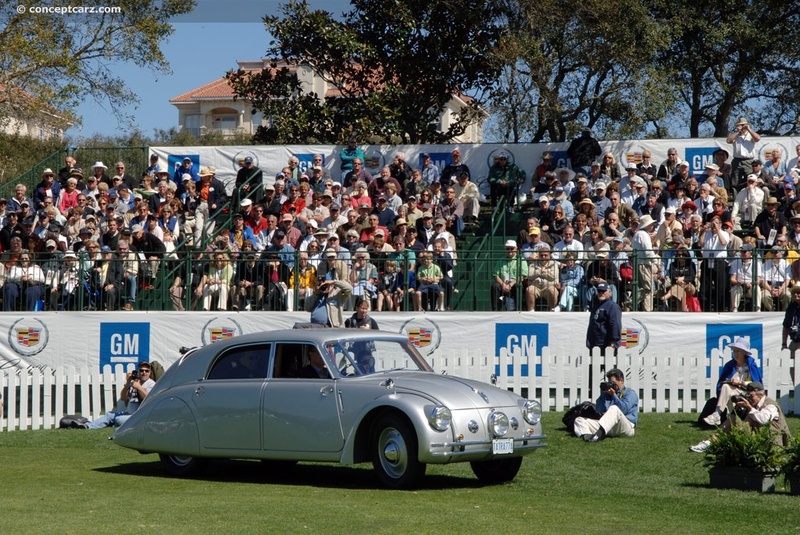 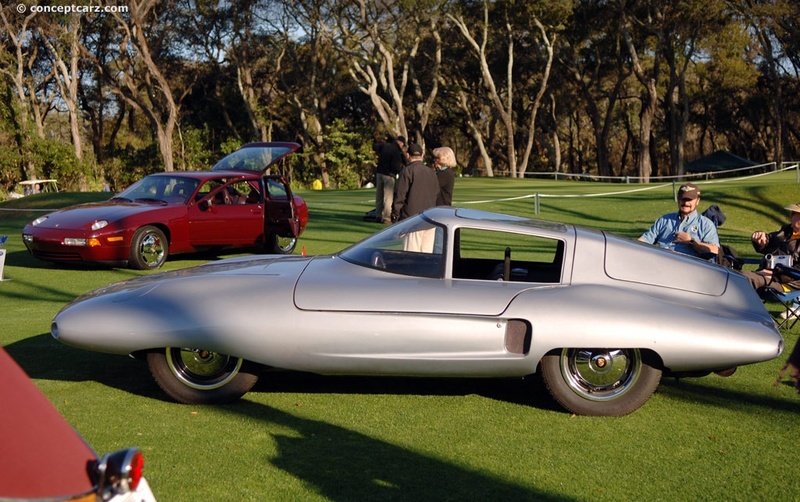 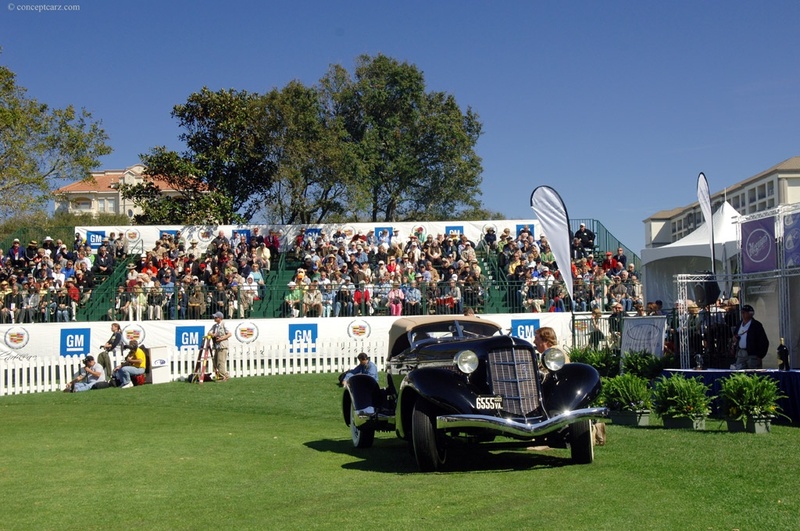 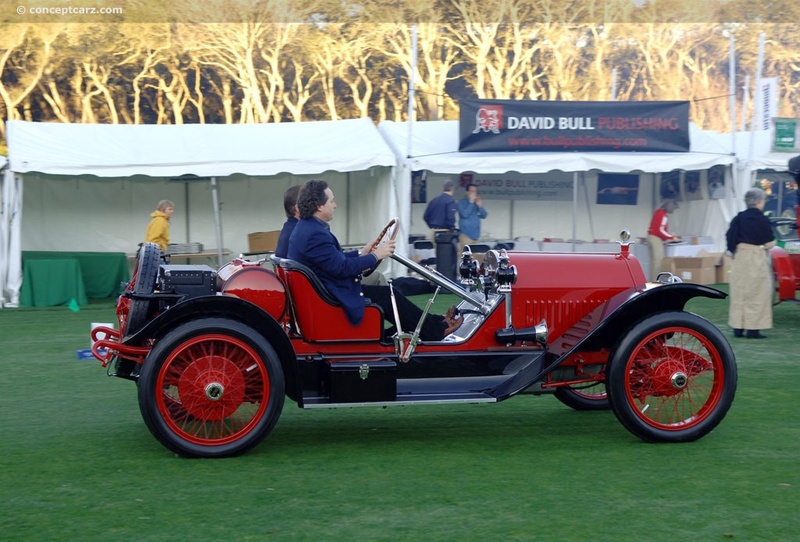 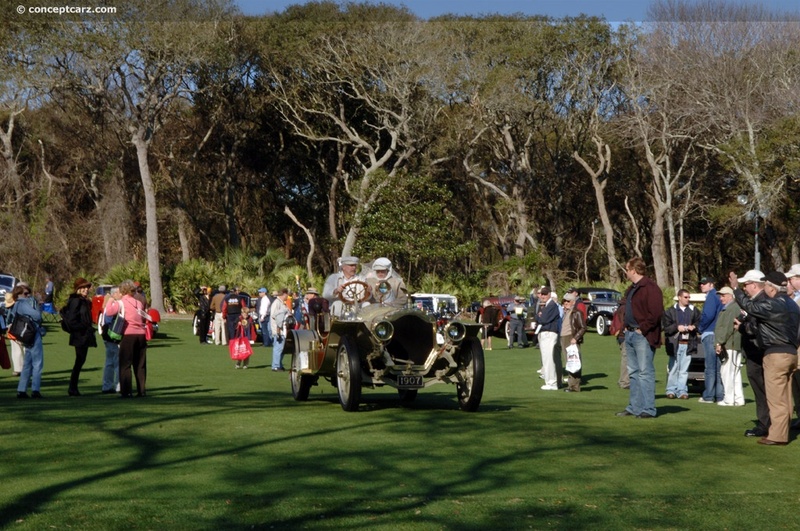 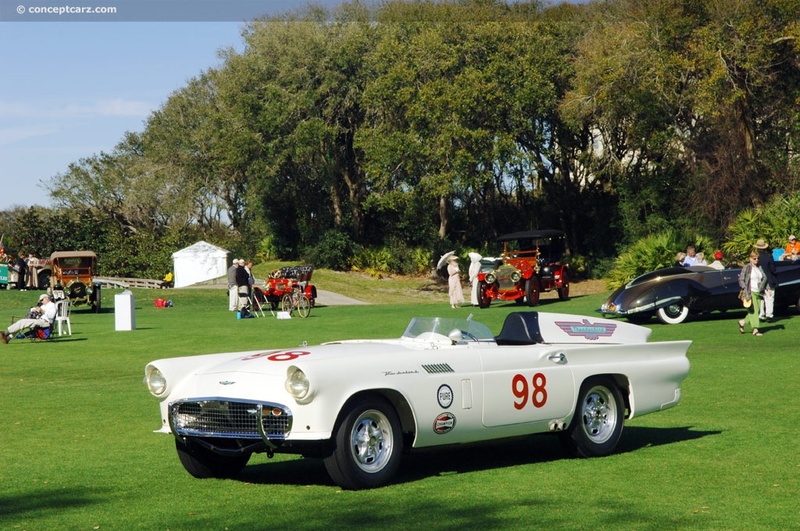 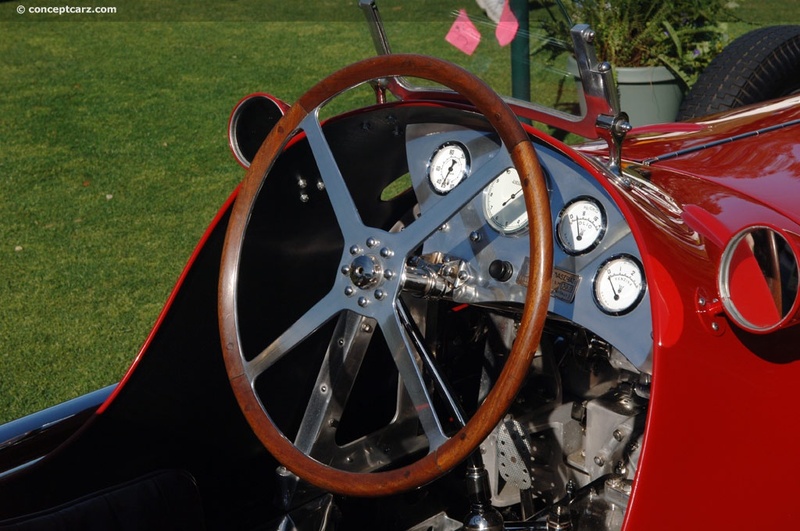 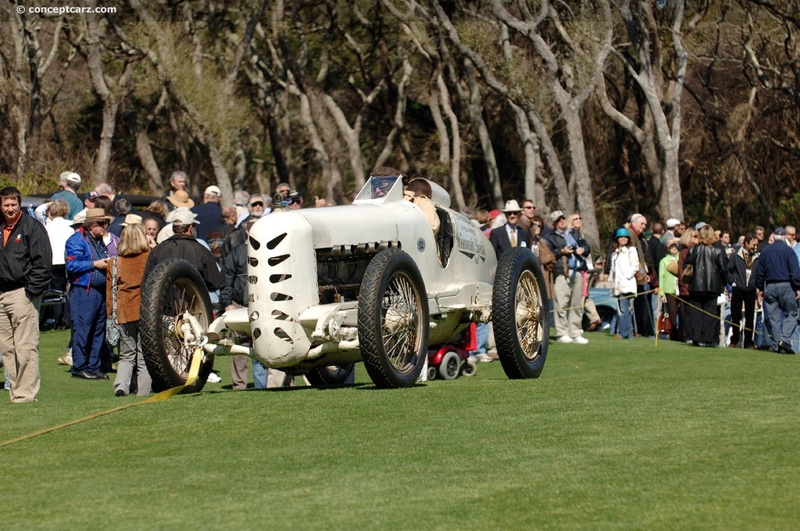 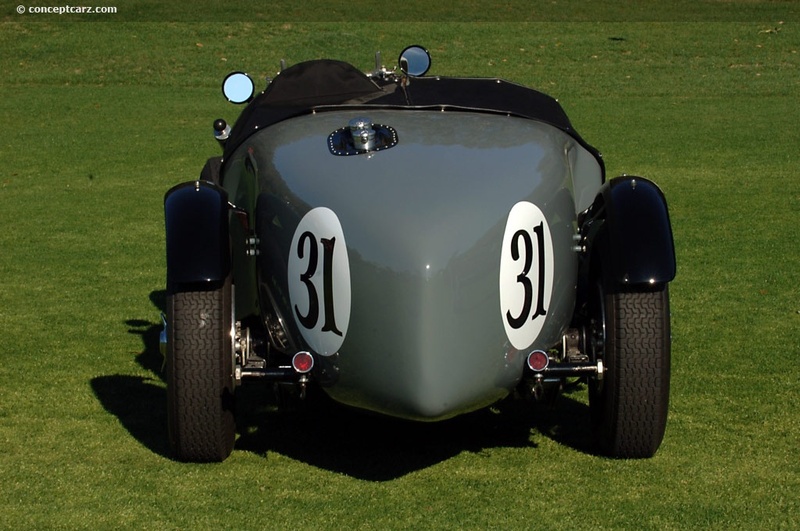 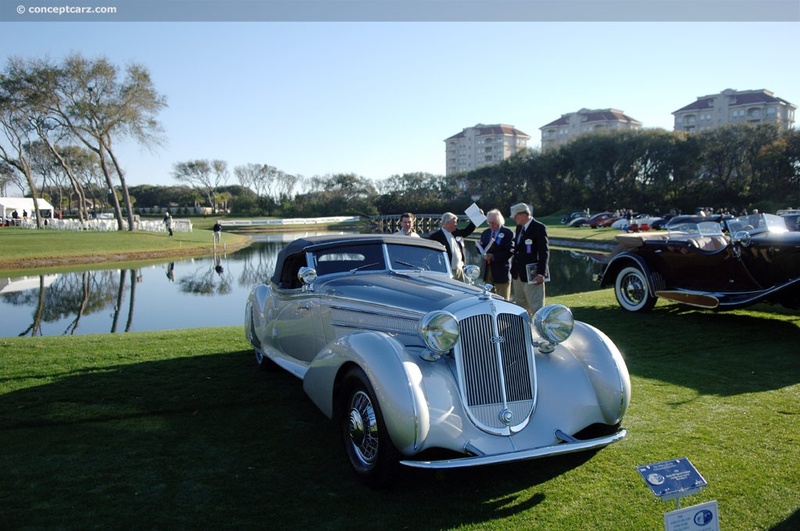 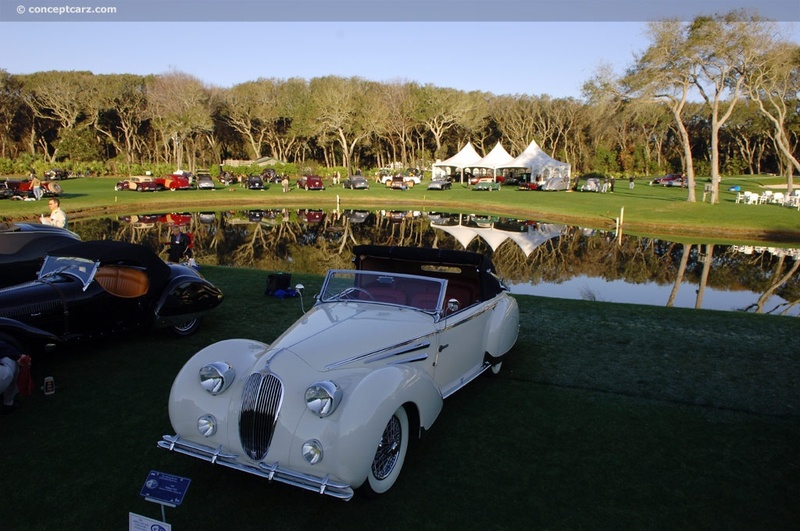 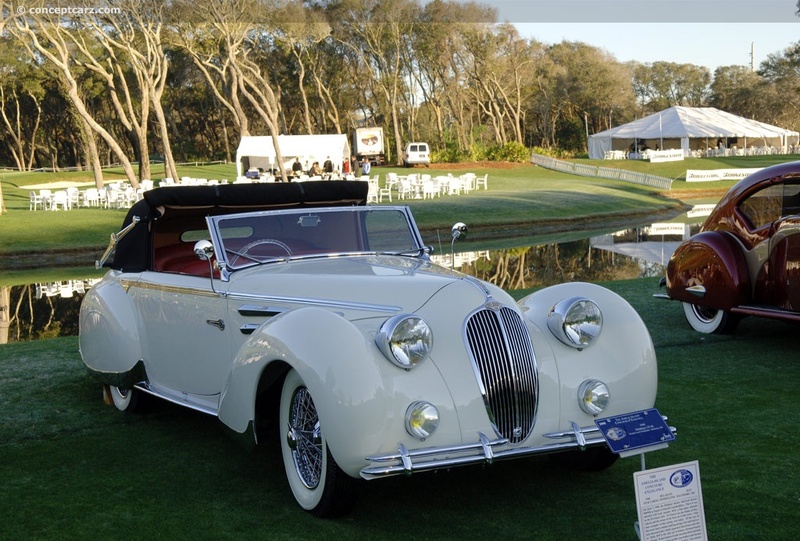 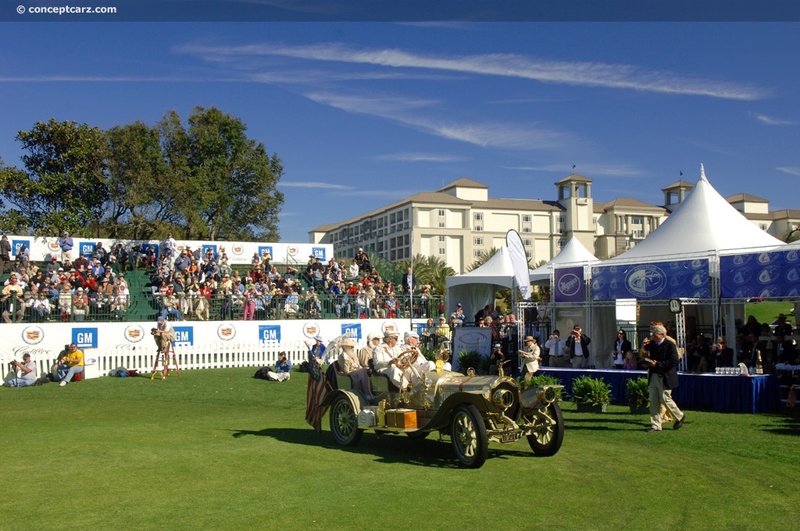 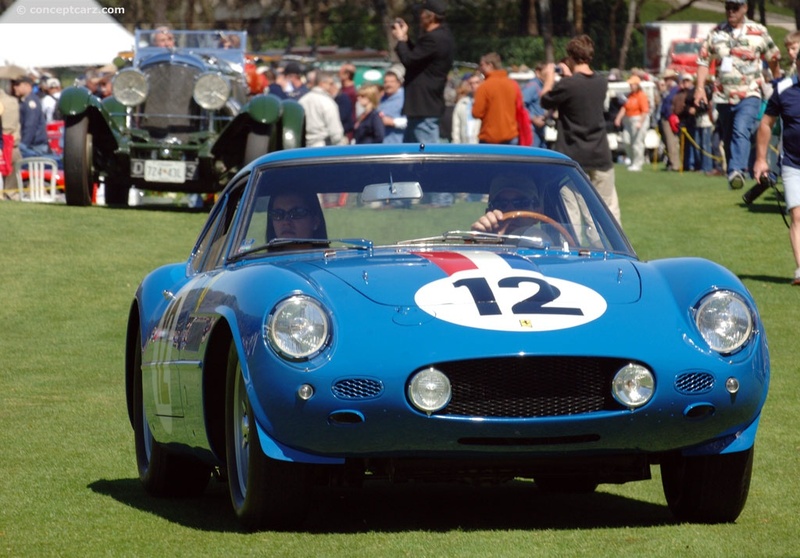 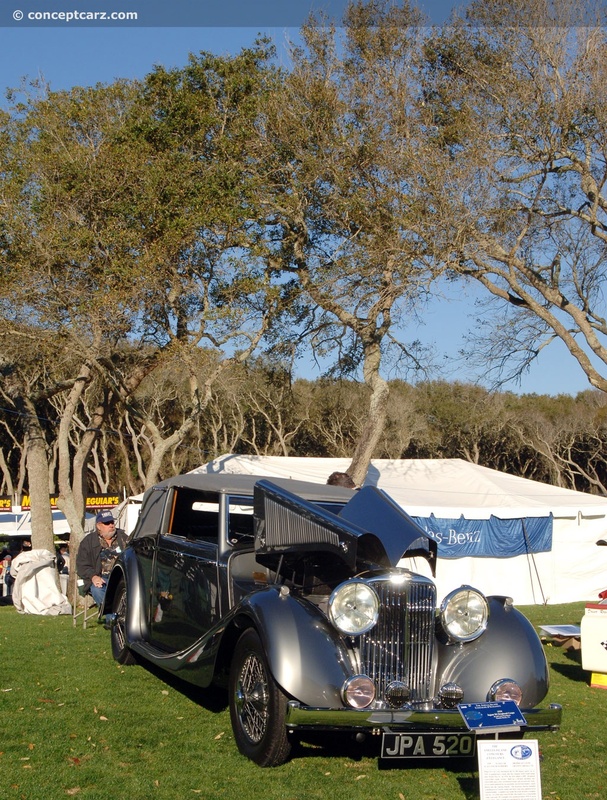 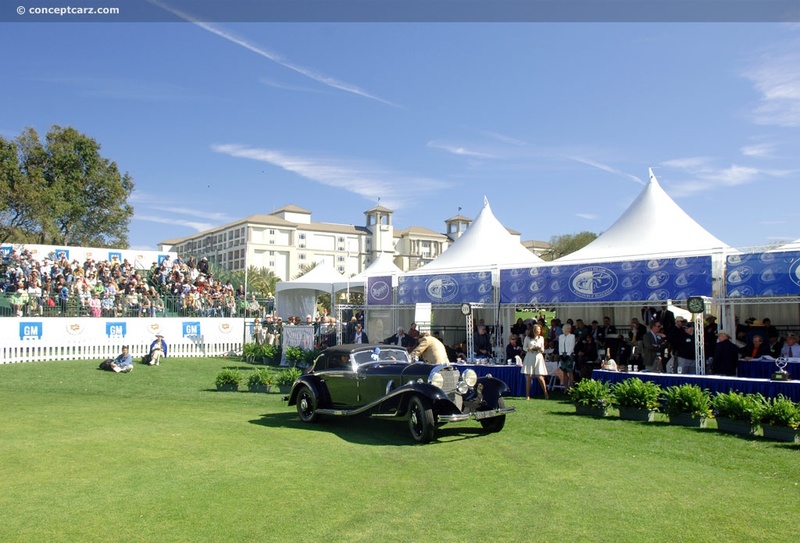 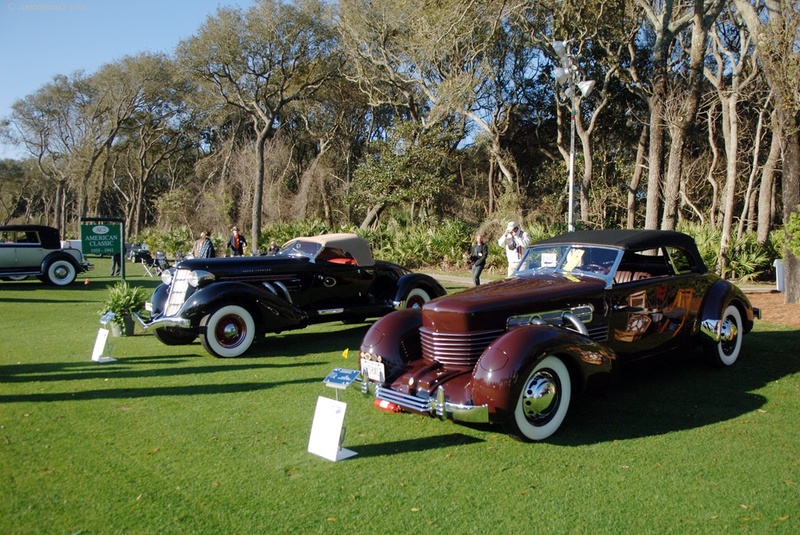 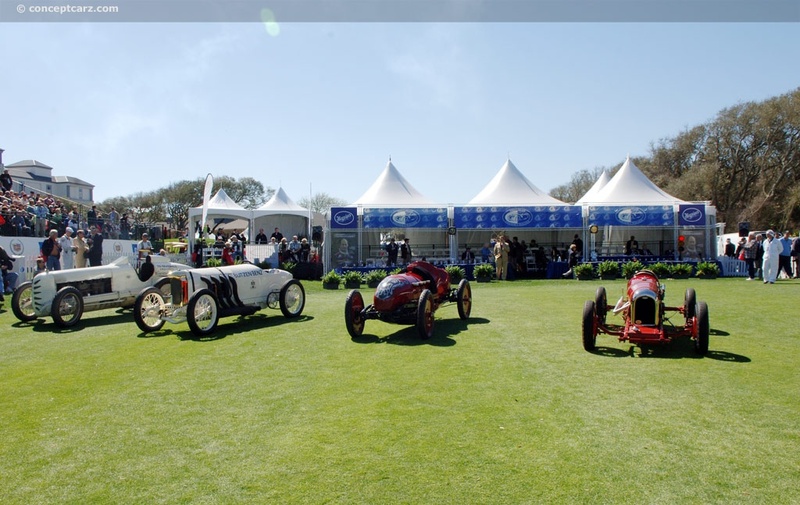 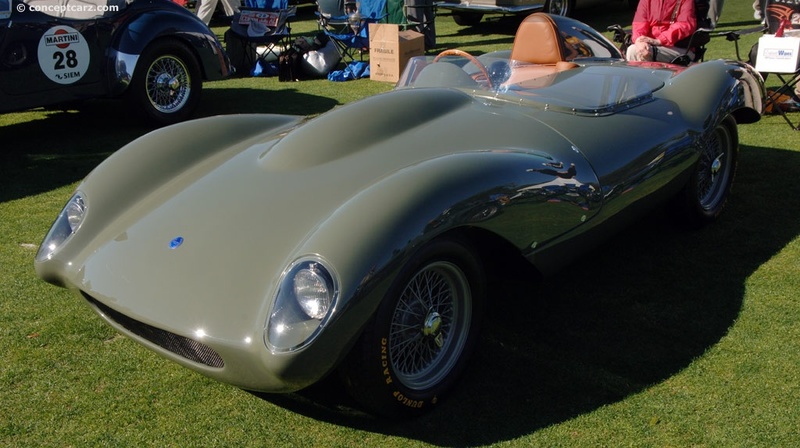 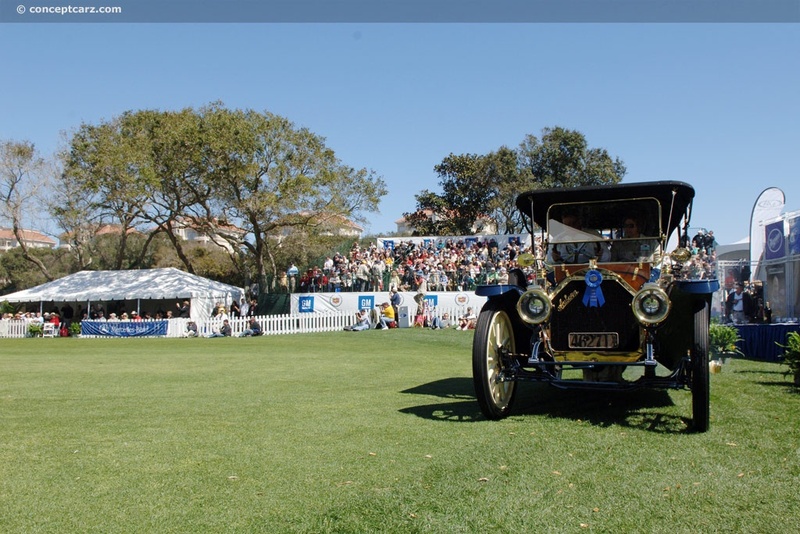 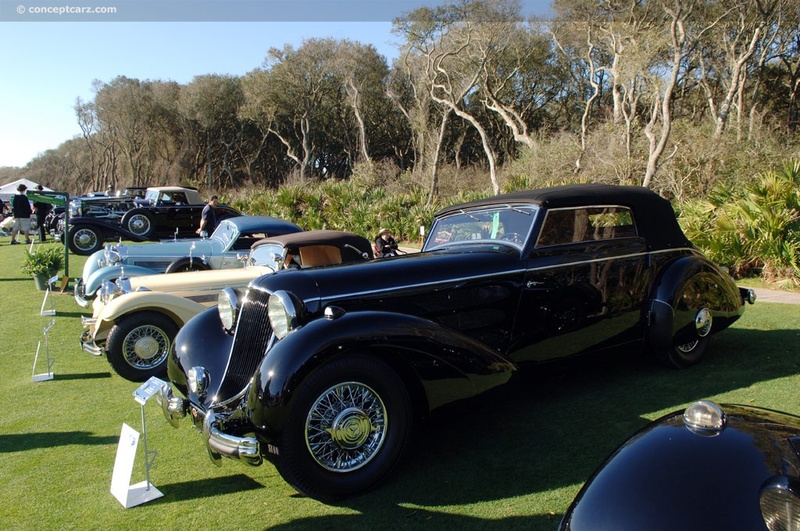 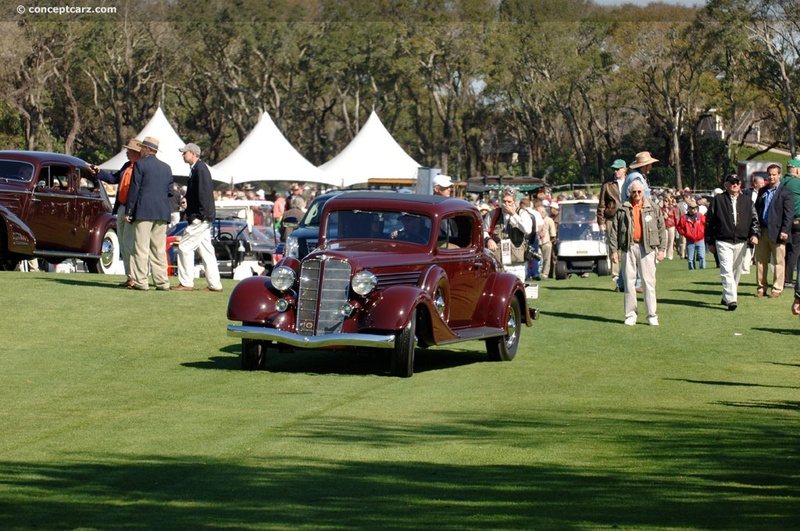 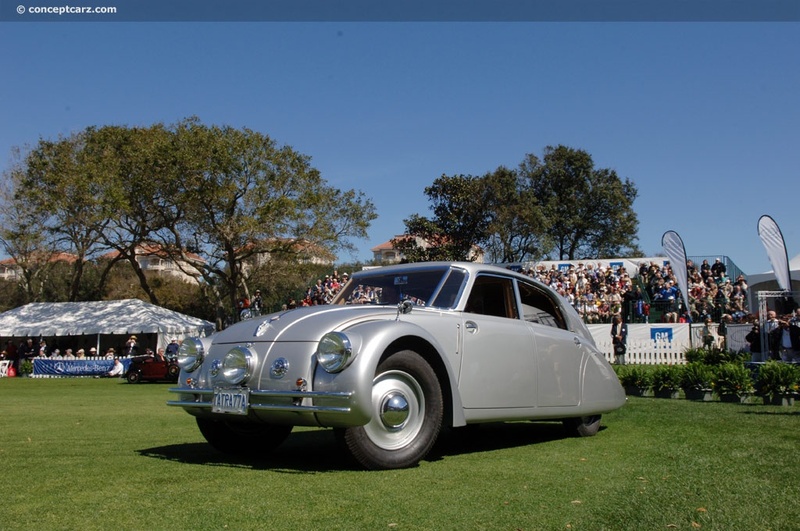 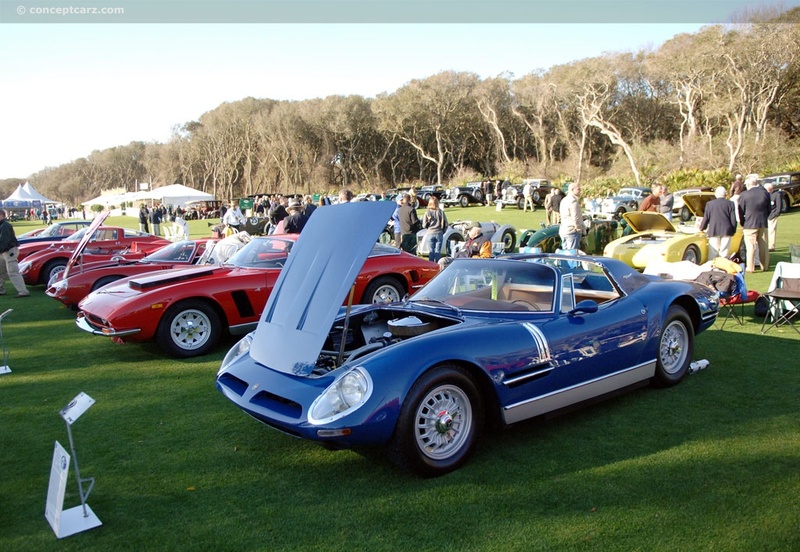 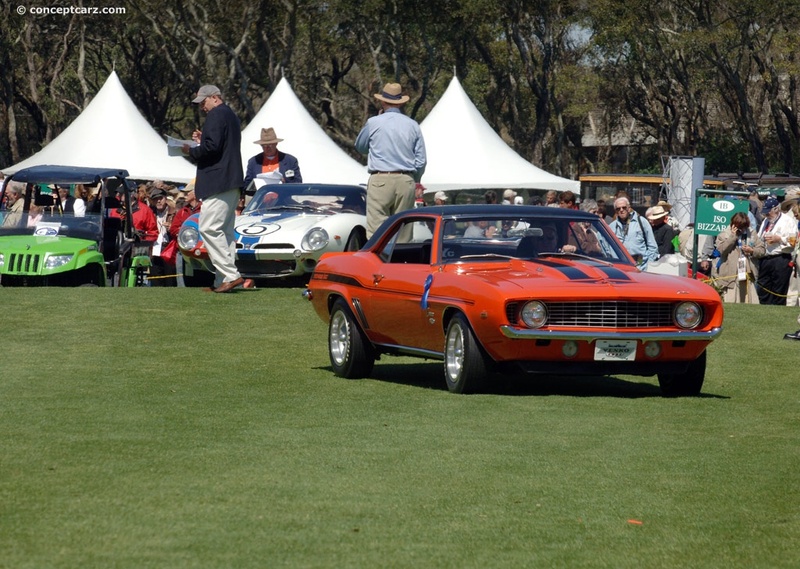 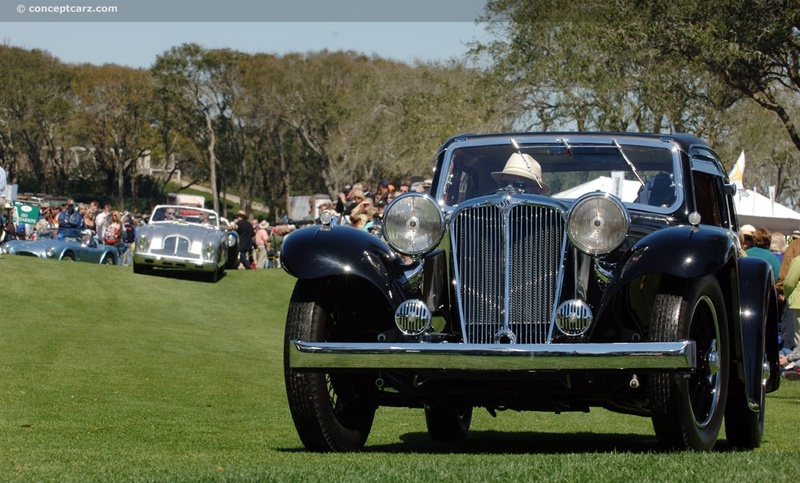 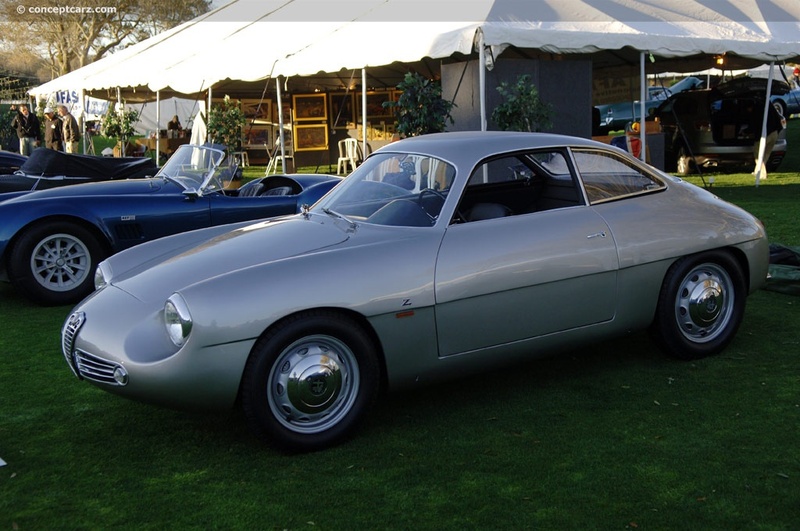 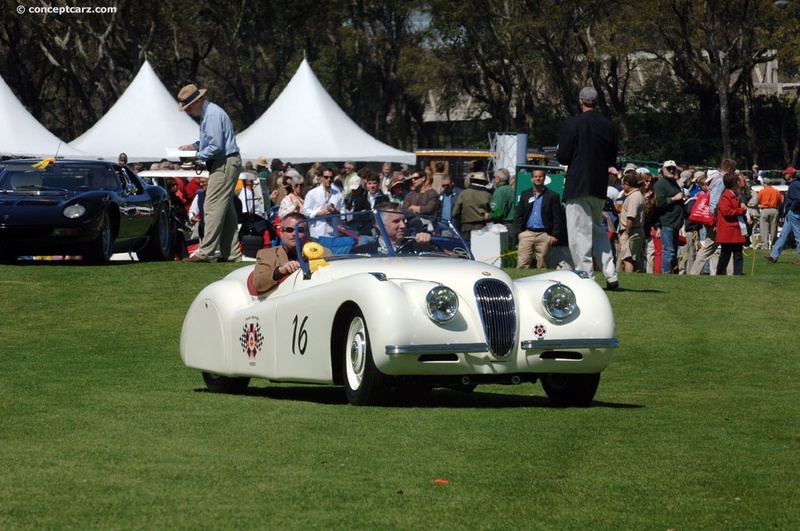 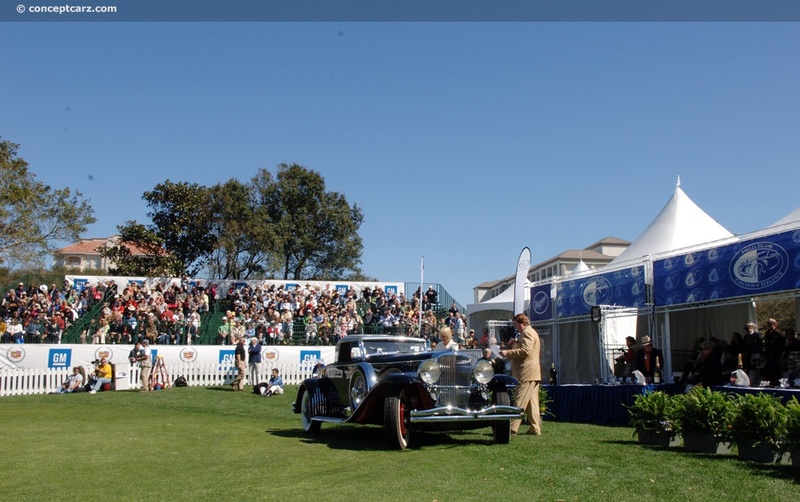 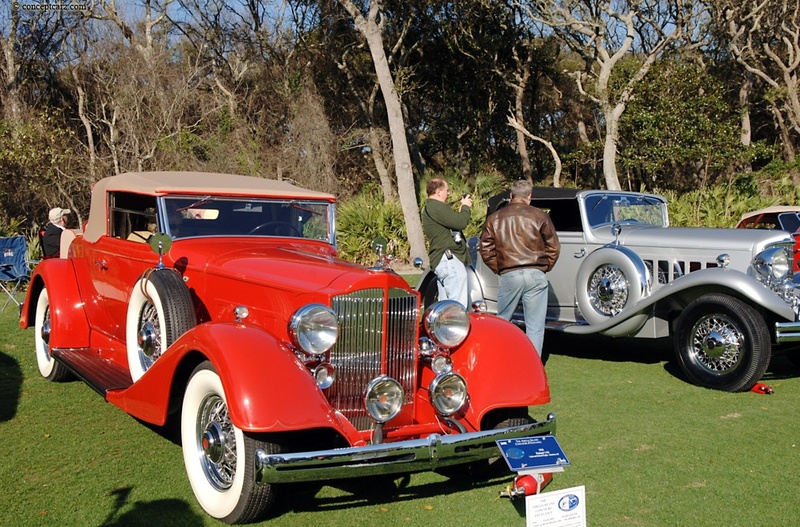 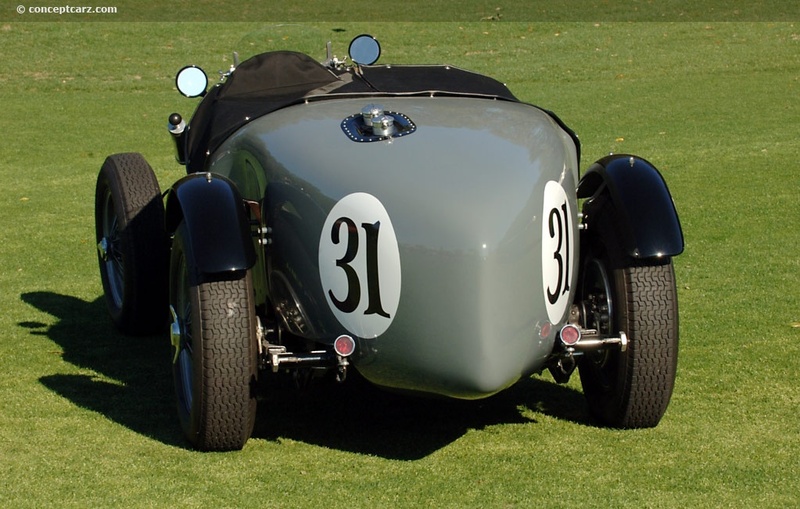 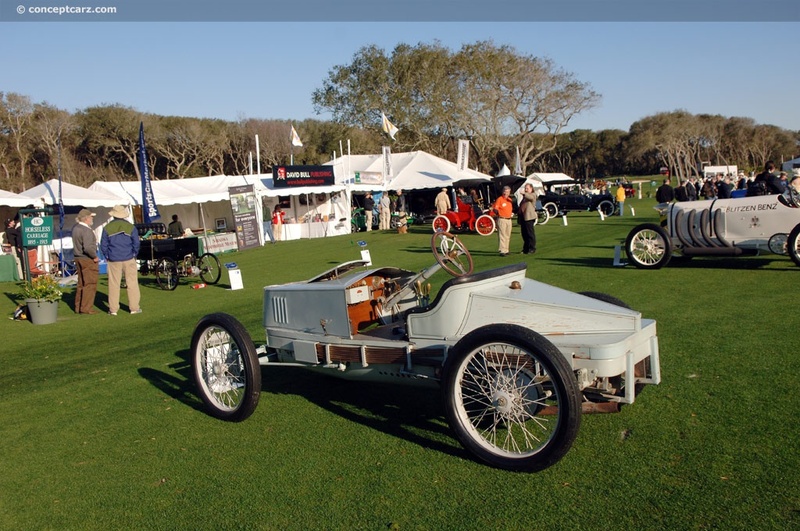 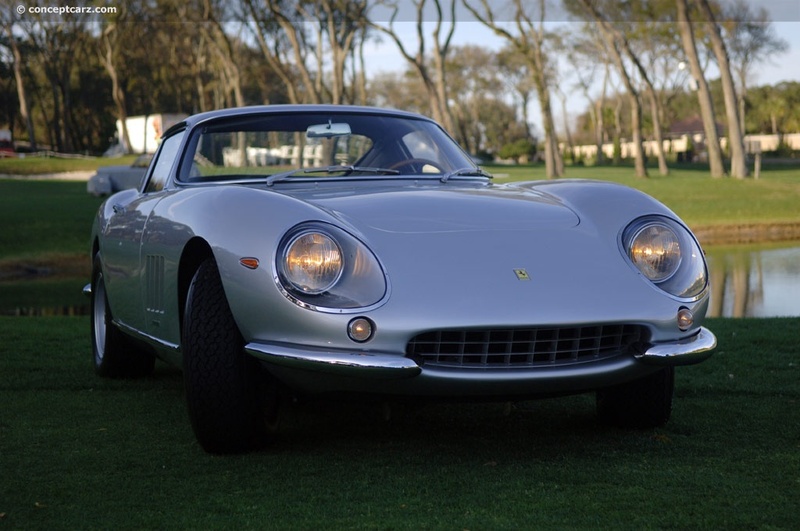 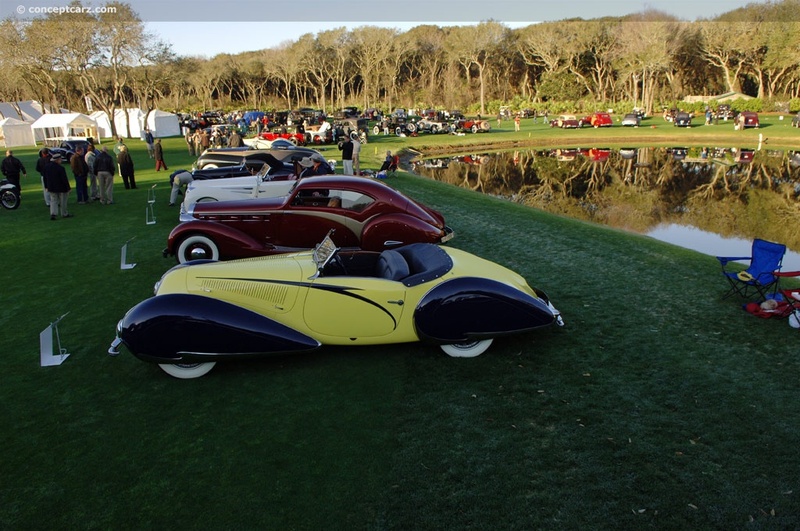 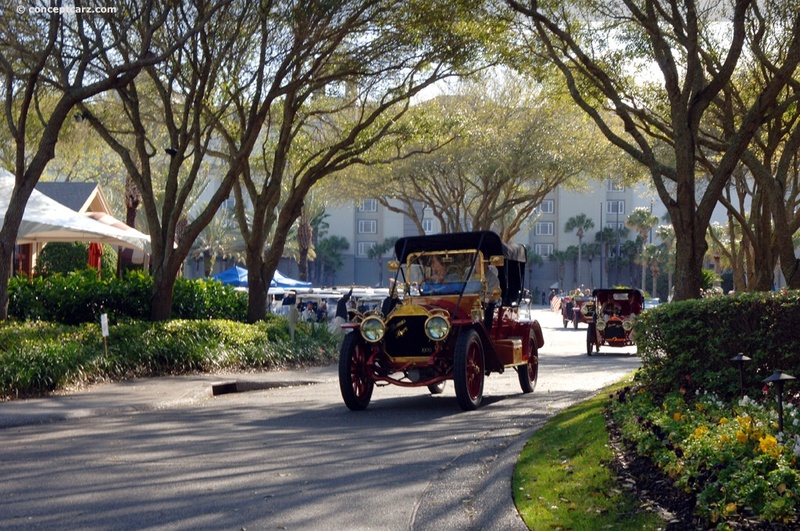 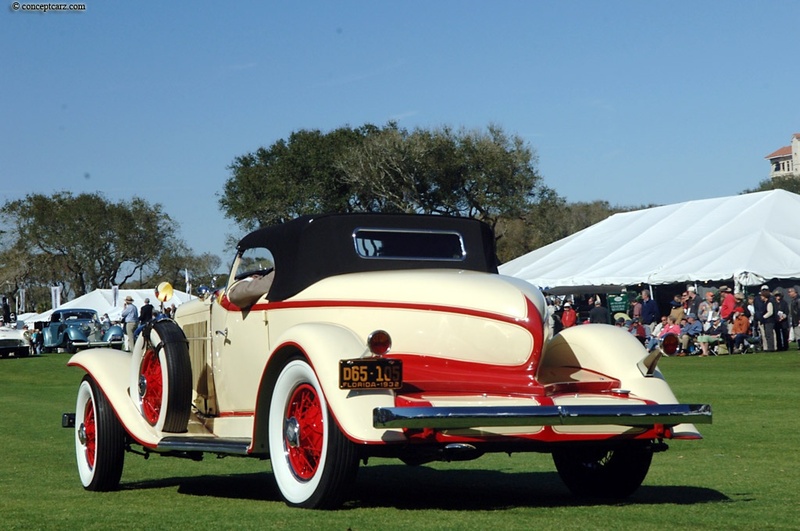 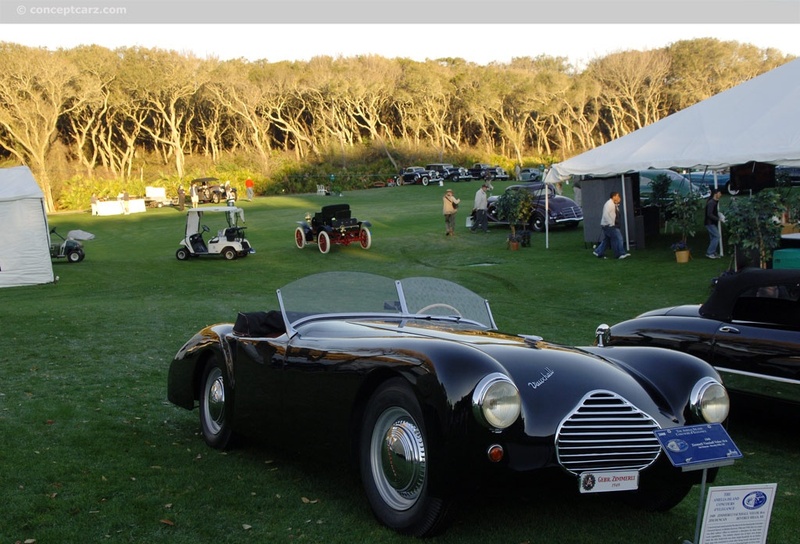 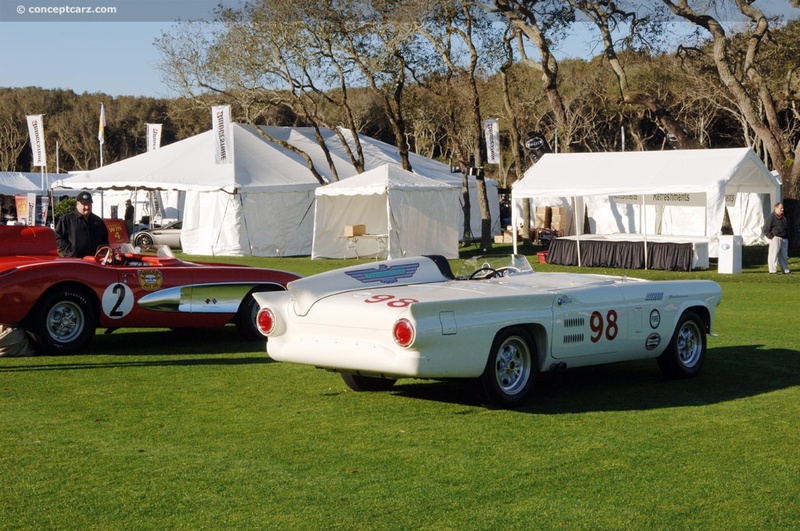 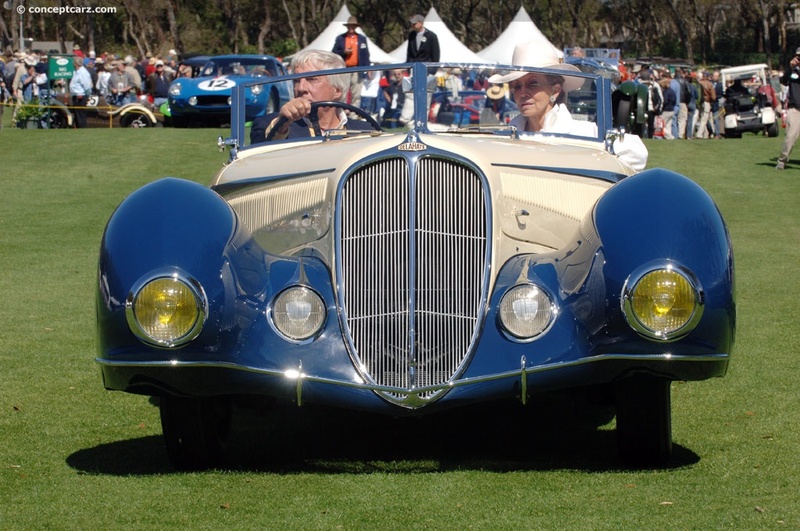 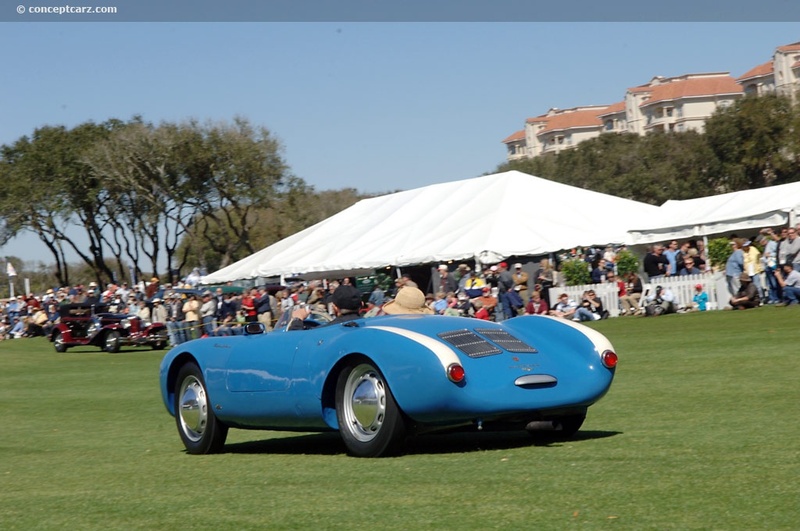 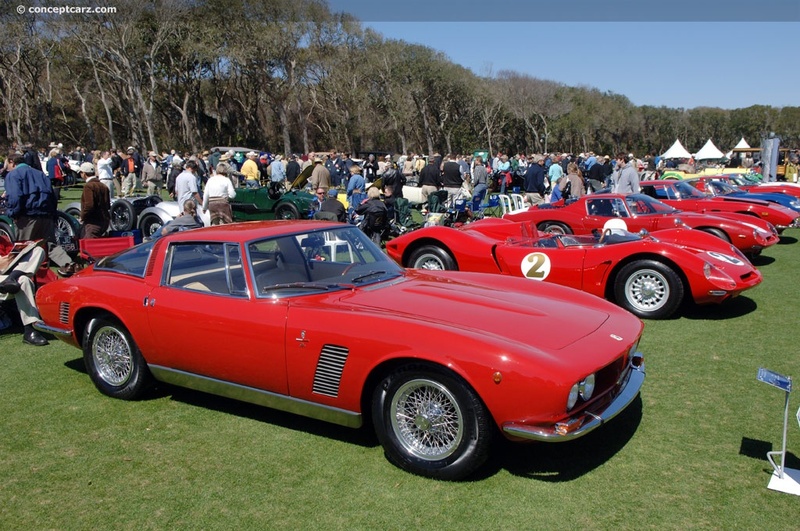 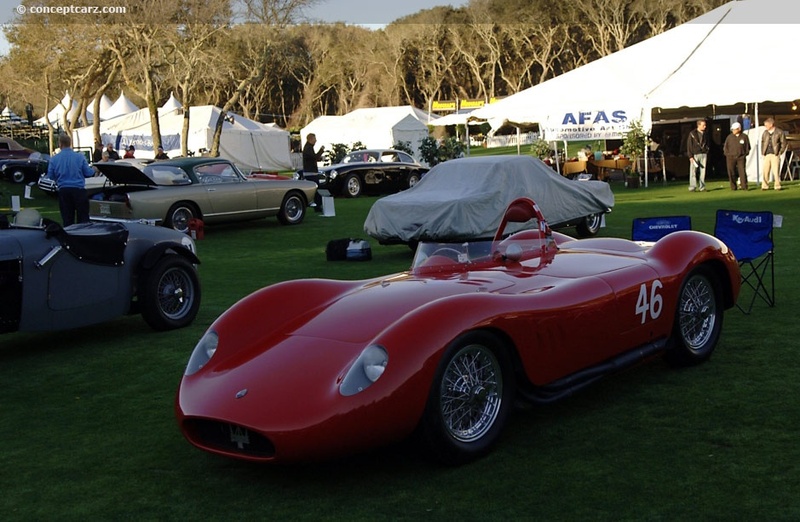 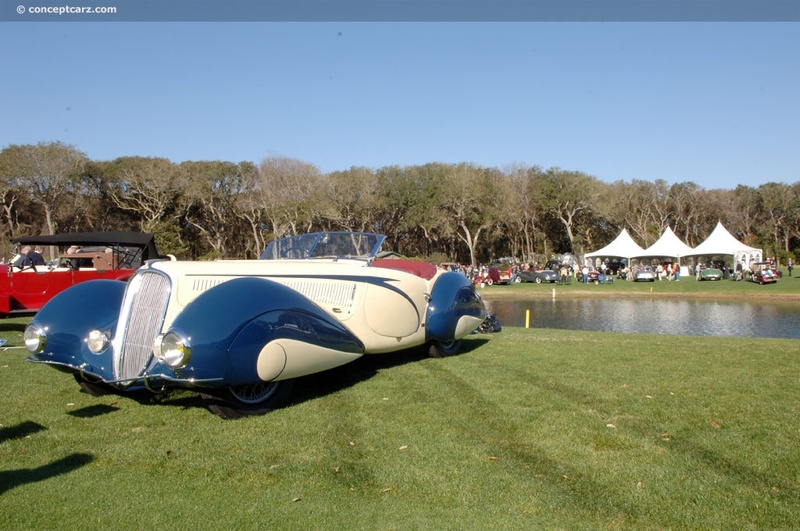 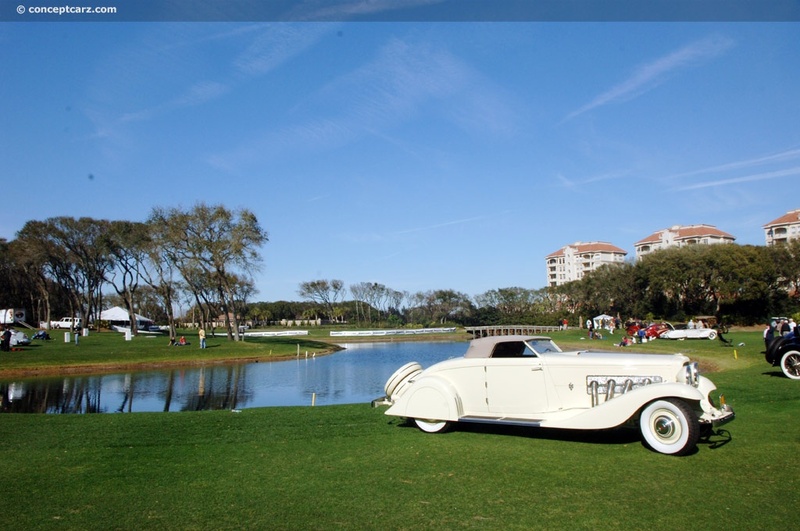 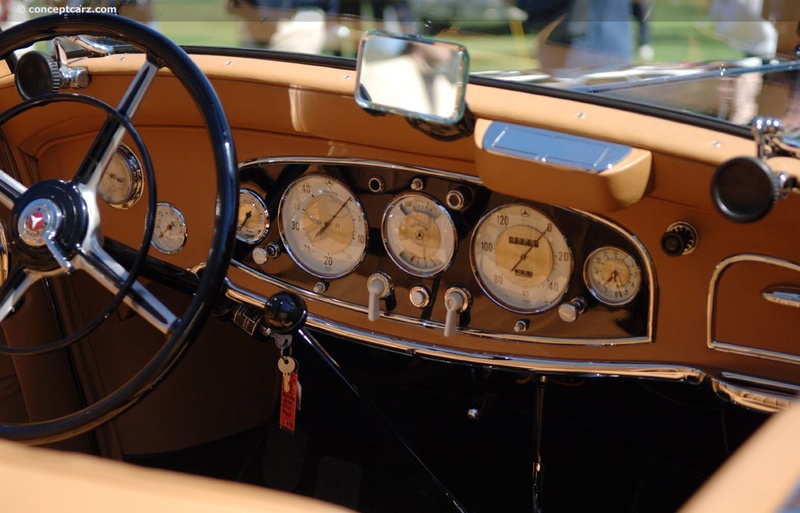 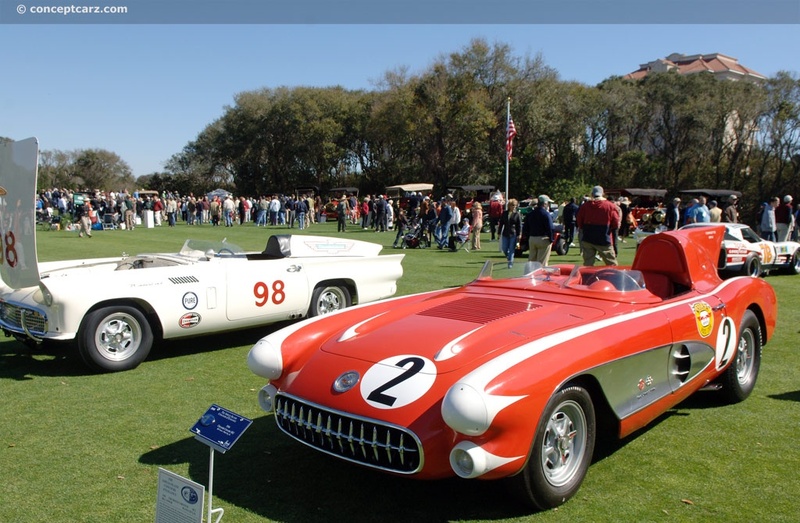 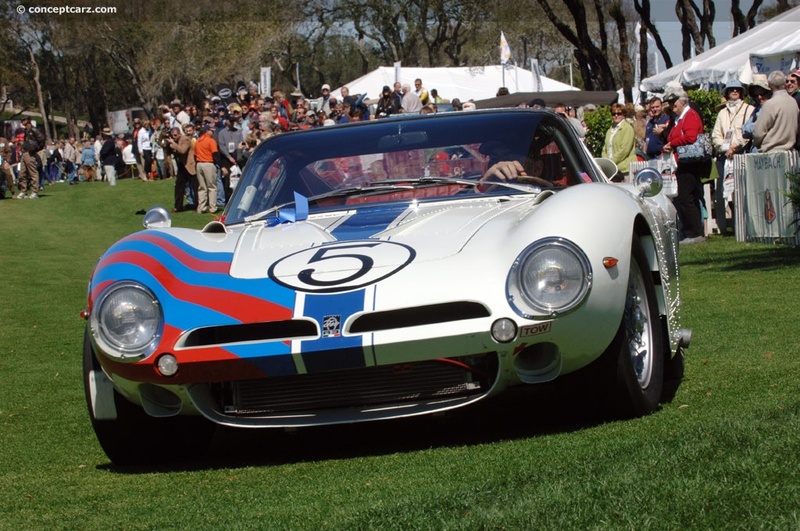 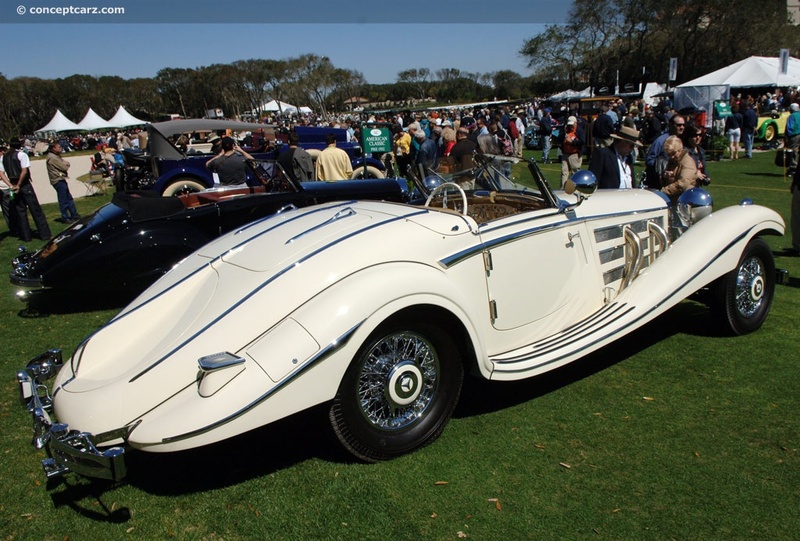 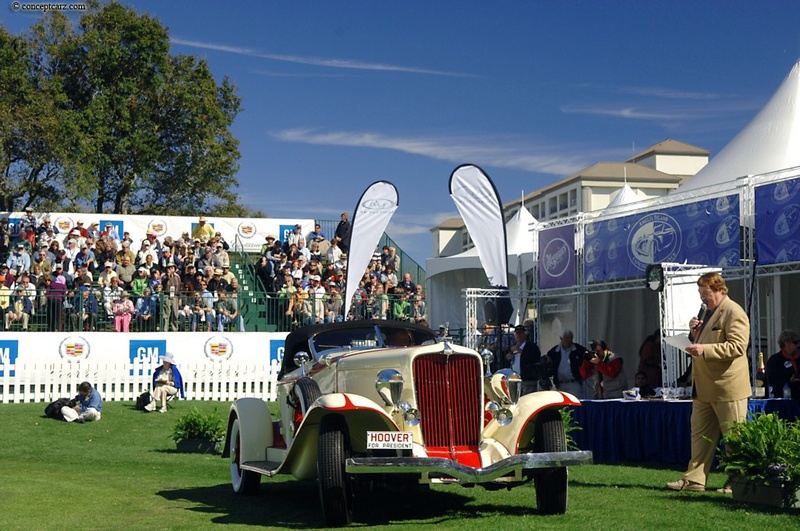 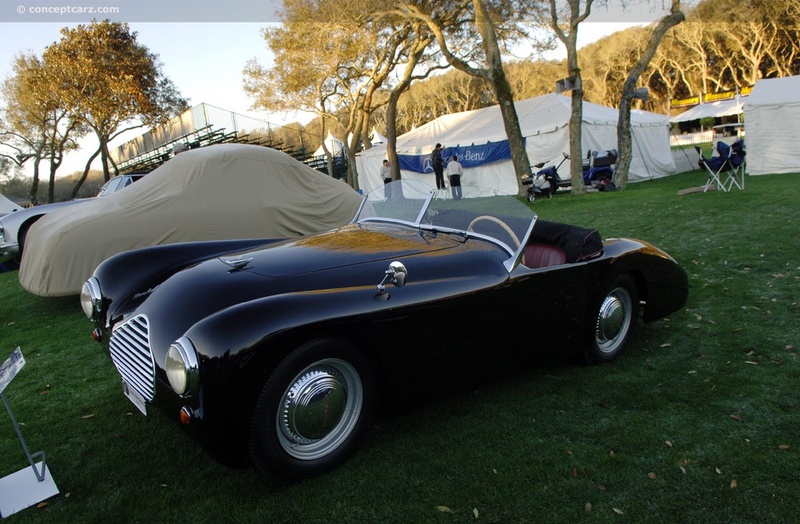 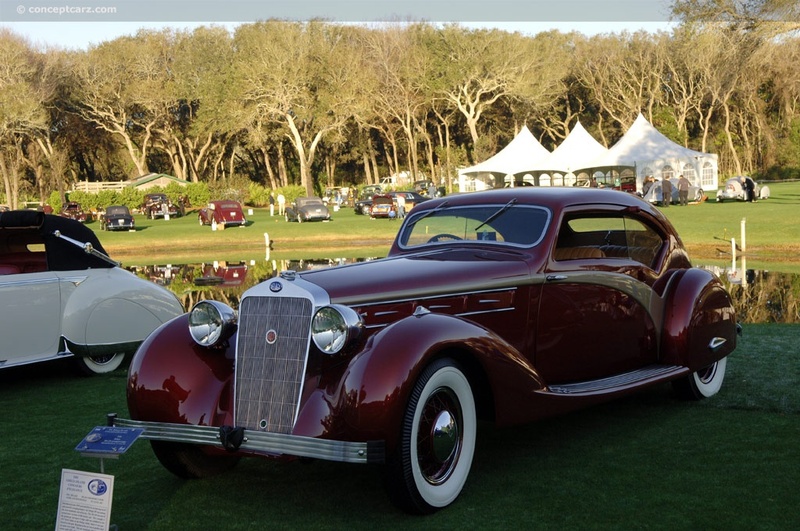 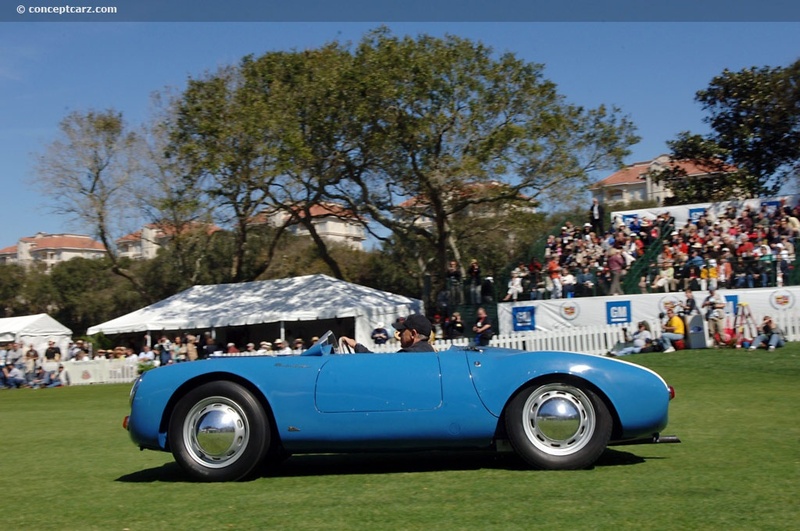 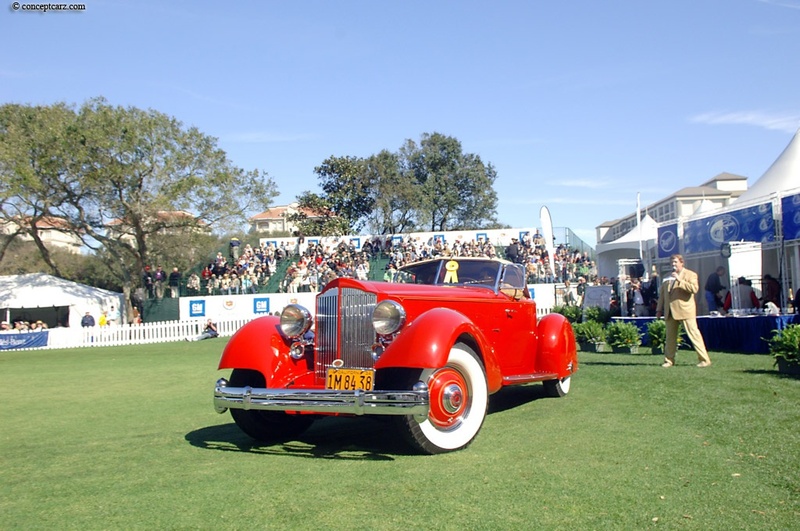 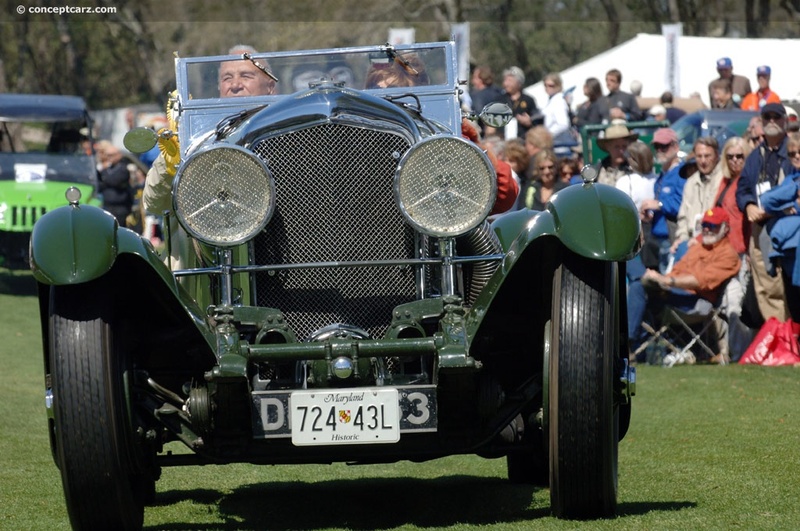 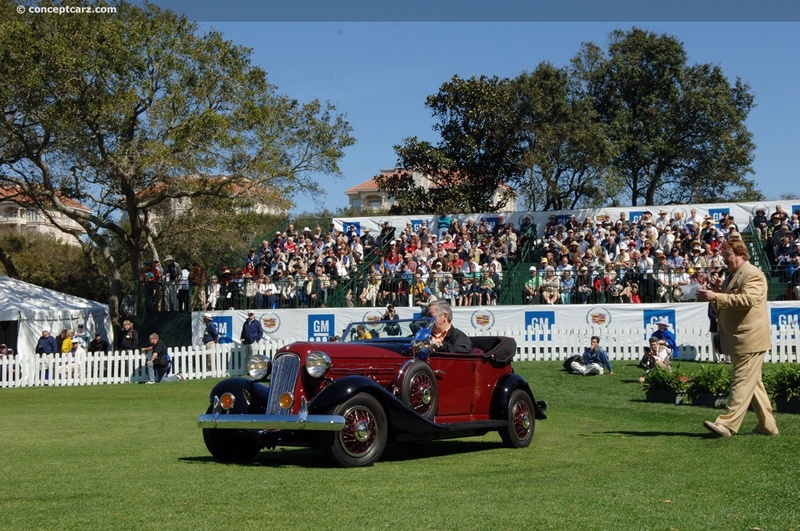 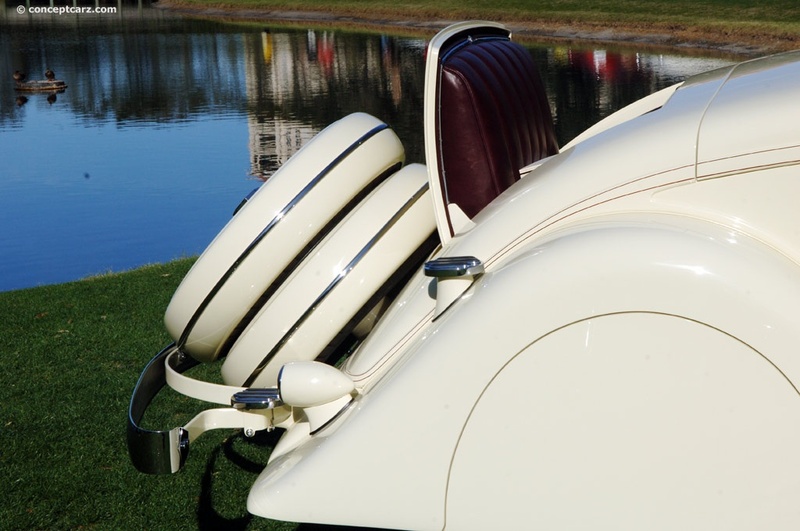 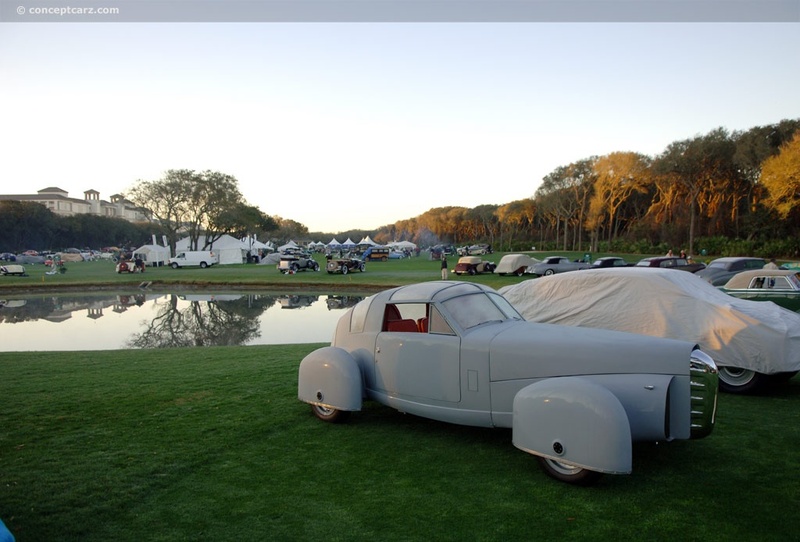 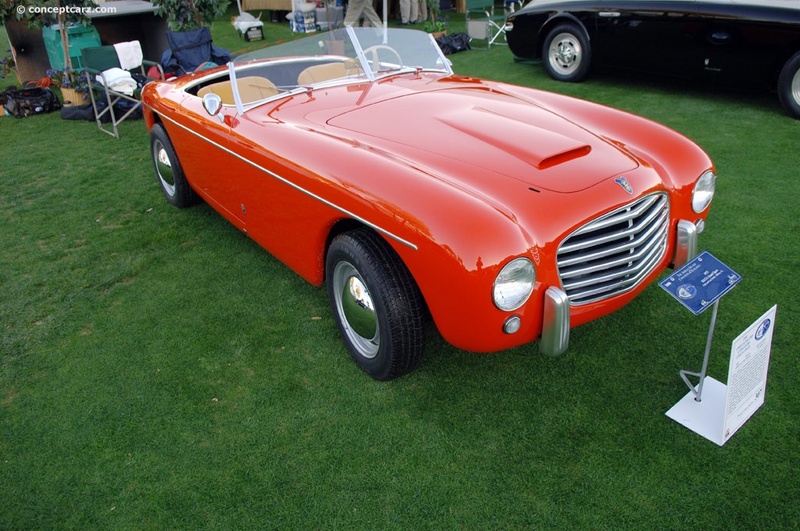 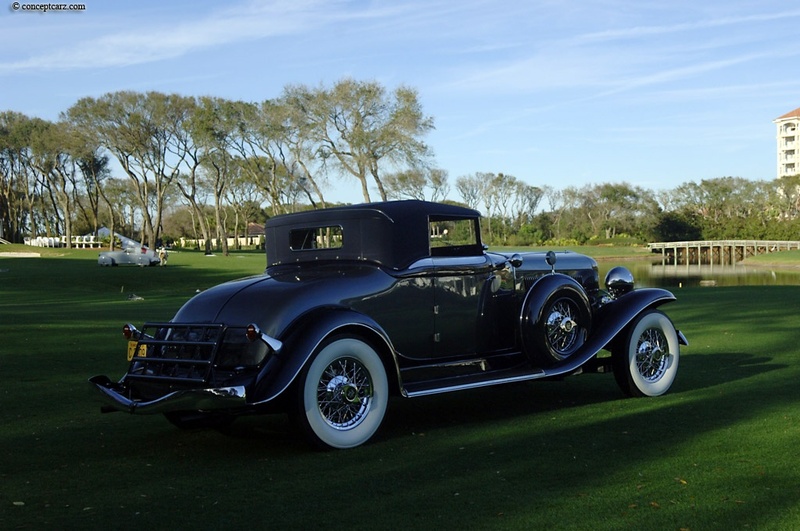 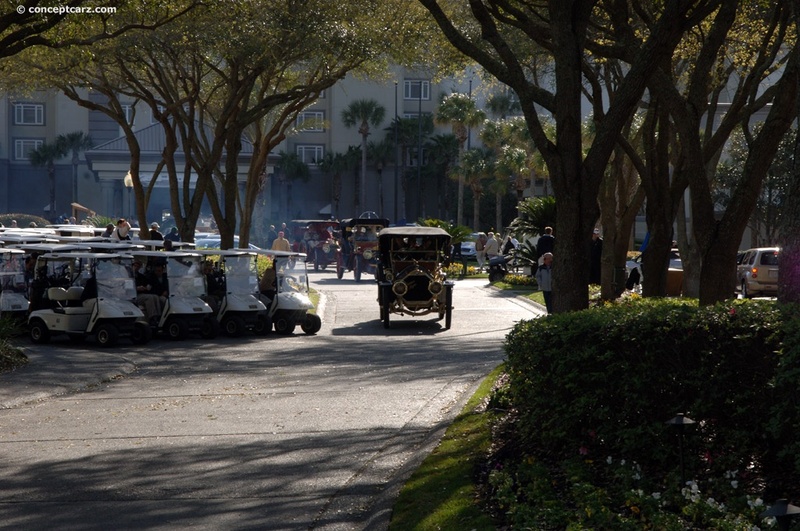 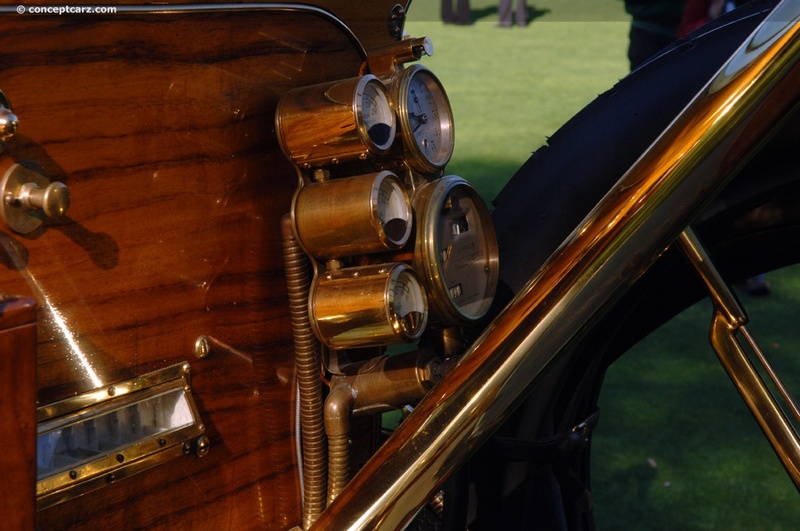 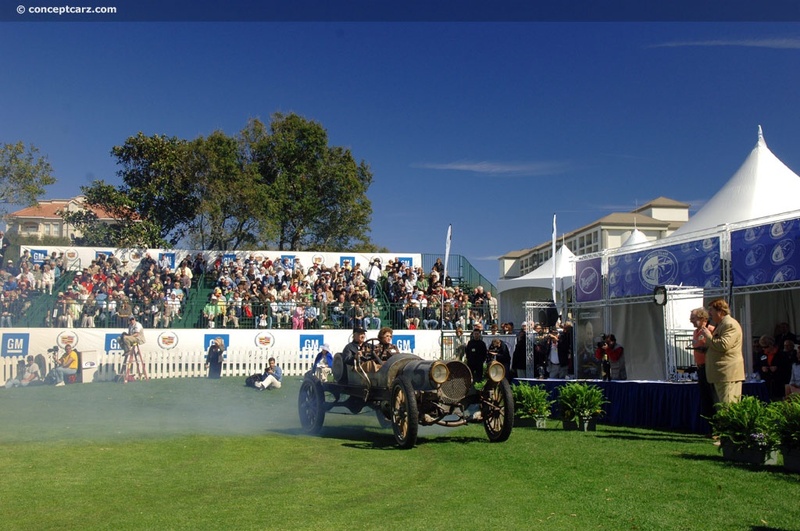 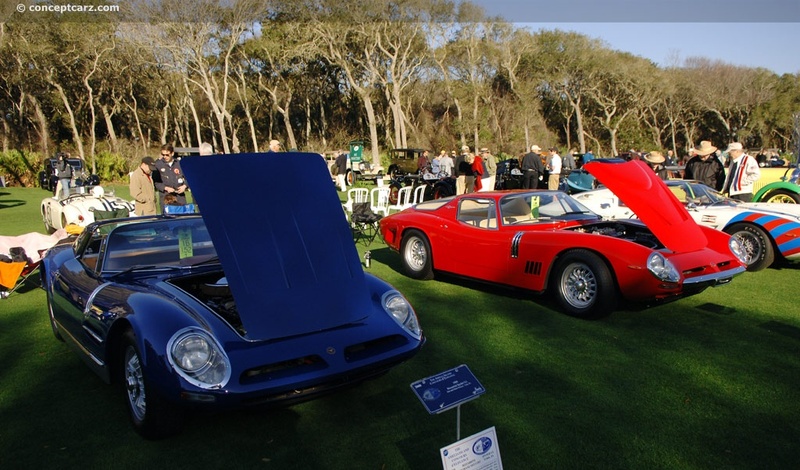 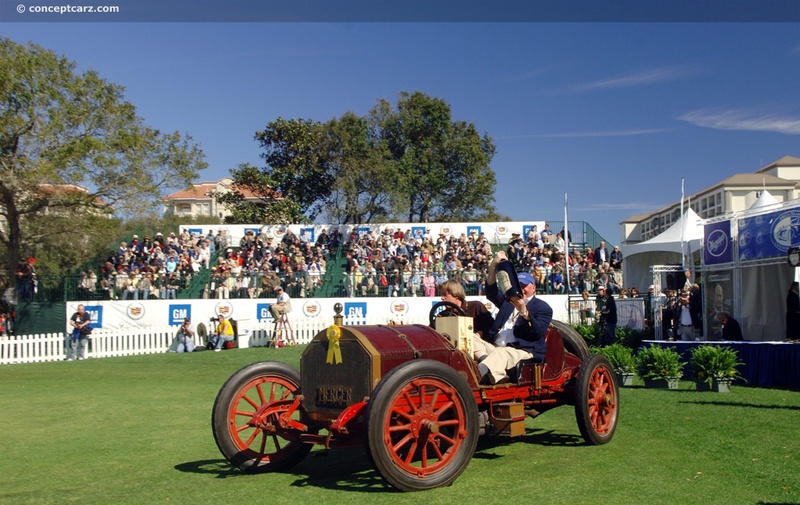 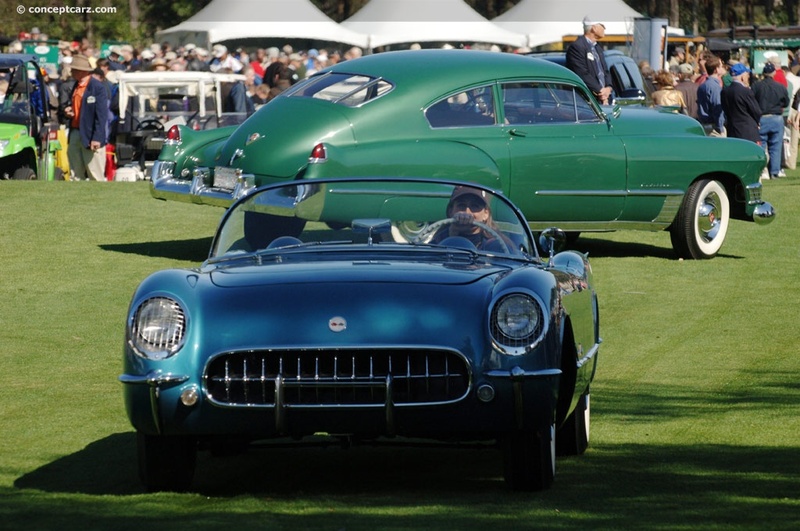 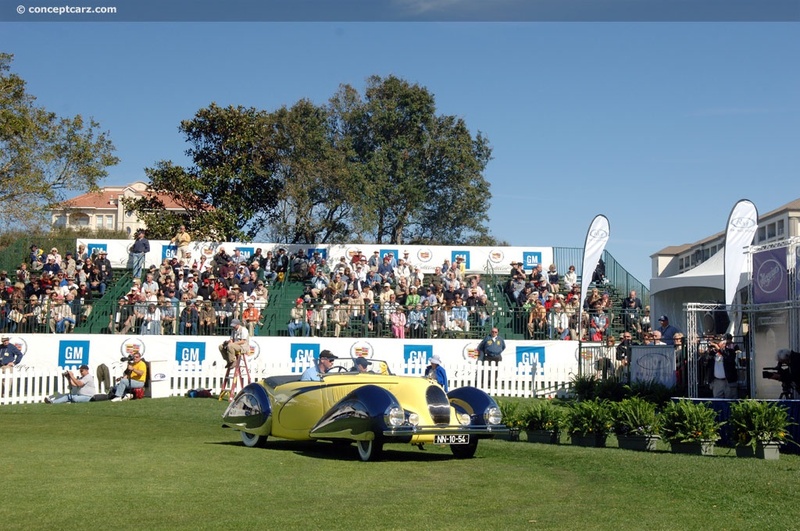 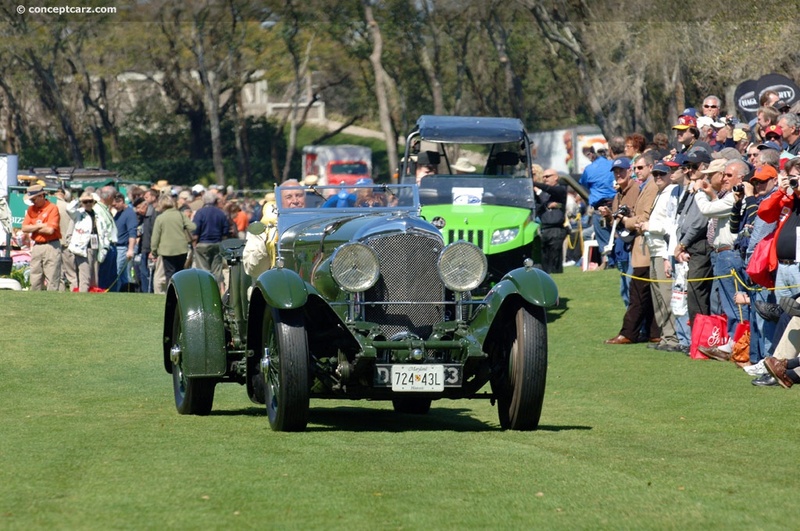 The Amelia Island Concours, for a second year in a row, was held during the weekend of Daylight Savings time, when an hour was lost as clocks were moved forward. 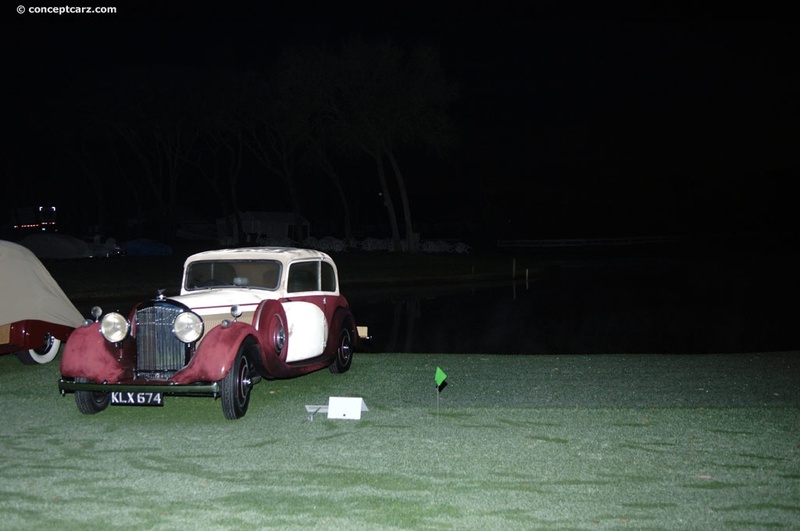 This meant that it was still very dark just a few hours prior to the spectators being allowed onto the field. 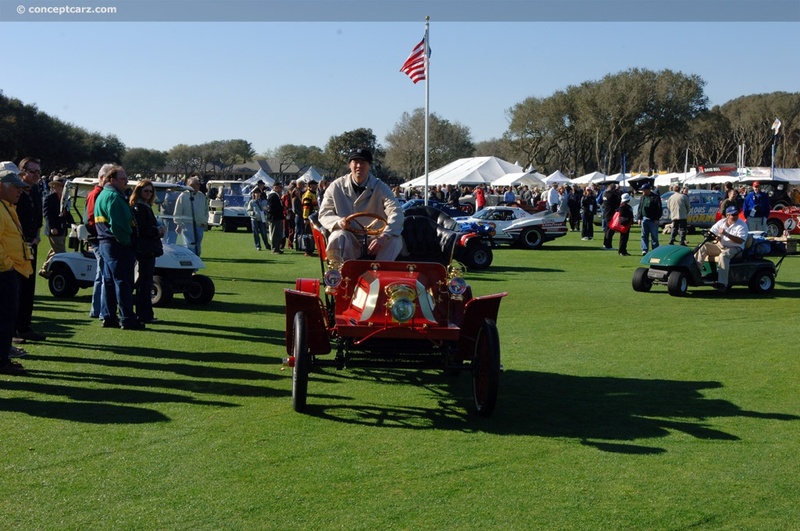 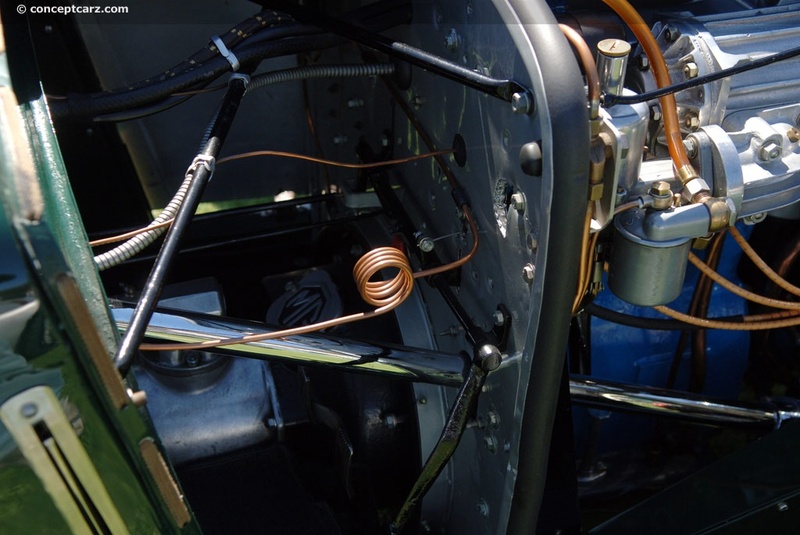 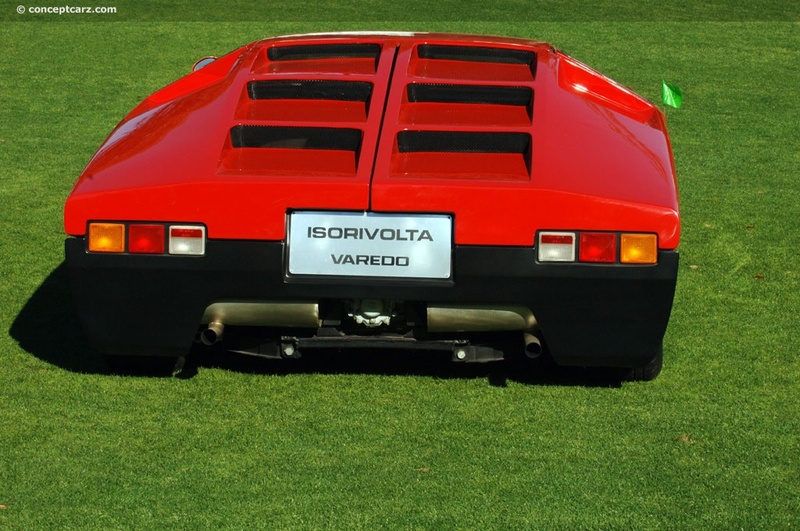 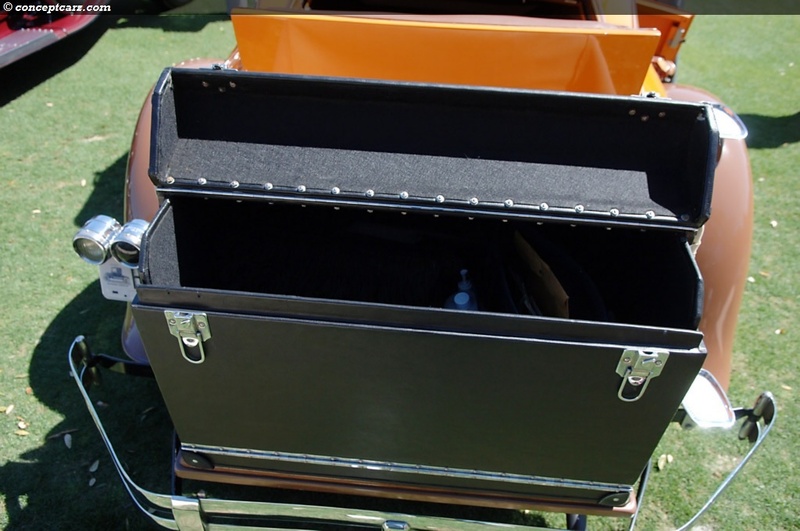 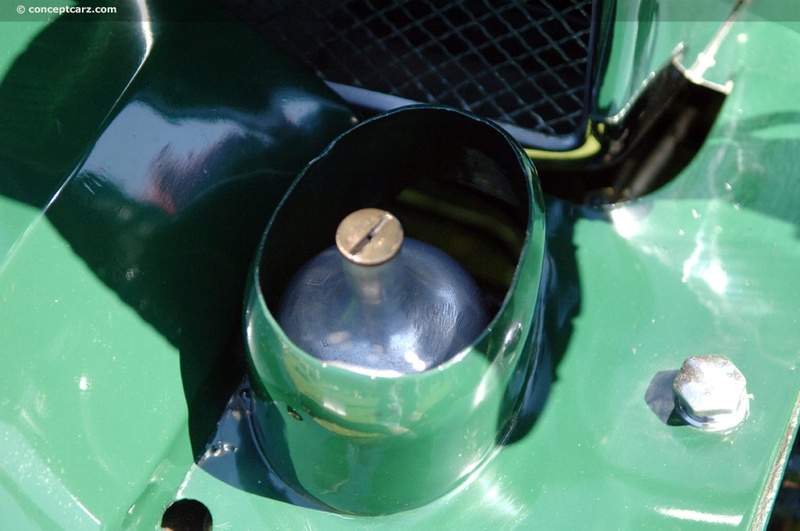 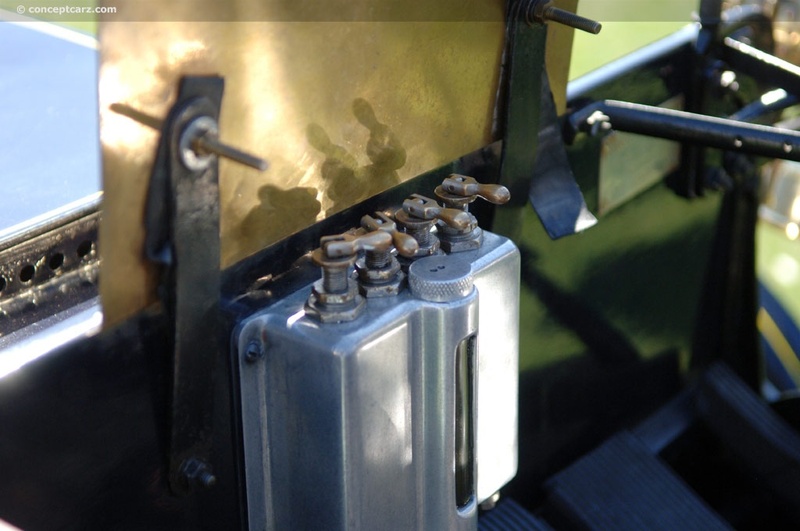 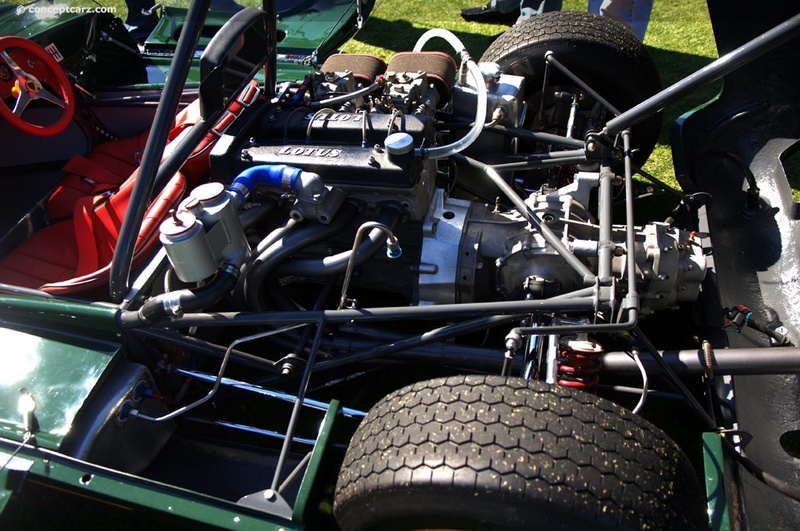 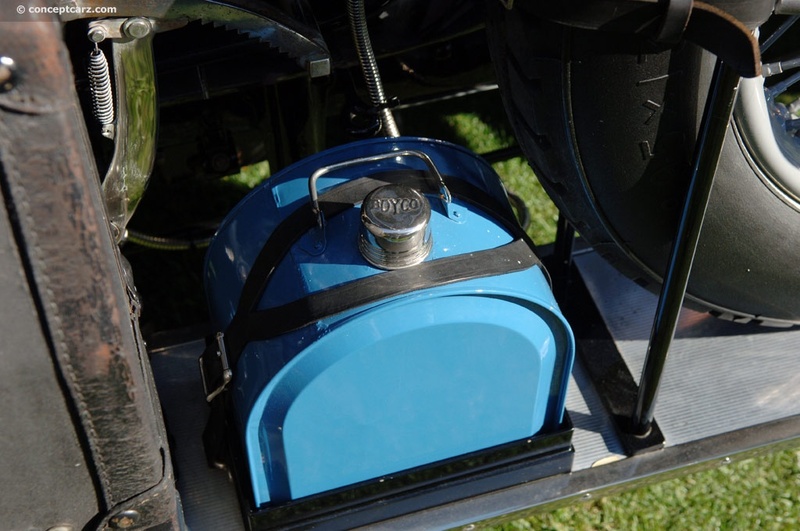 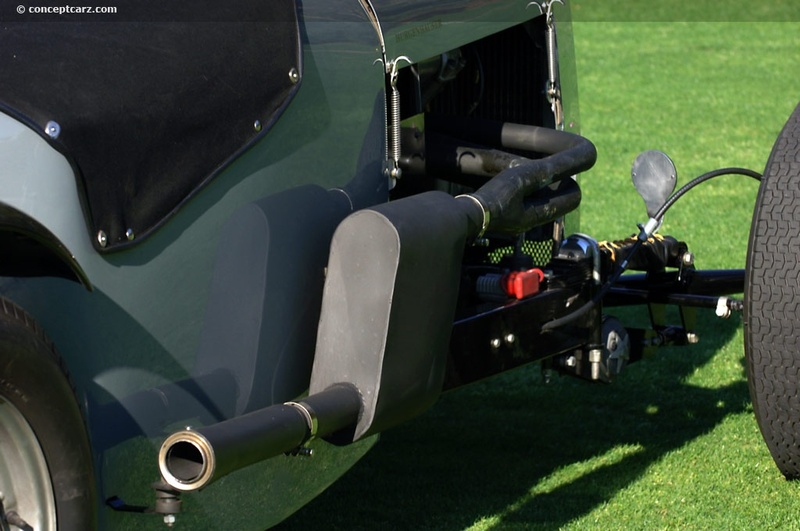 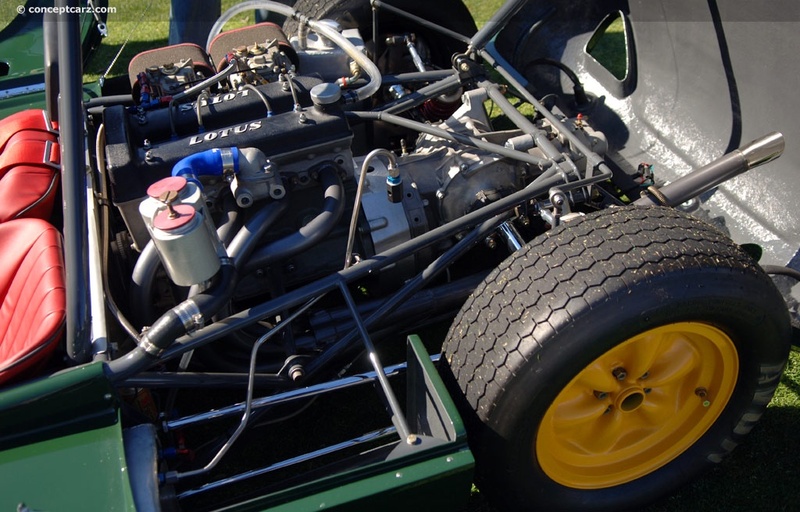 Golf carts quietly traveled under battery power over the vast field, making standing and walking a very difficult and dangerous activity for those trying to get the cars assembled. 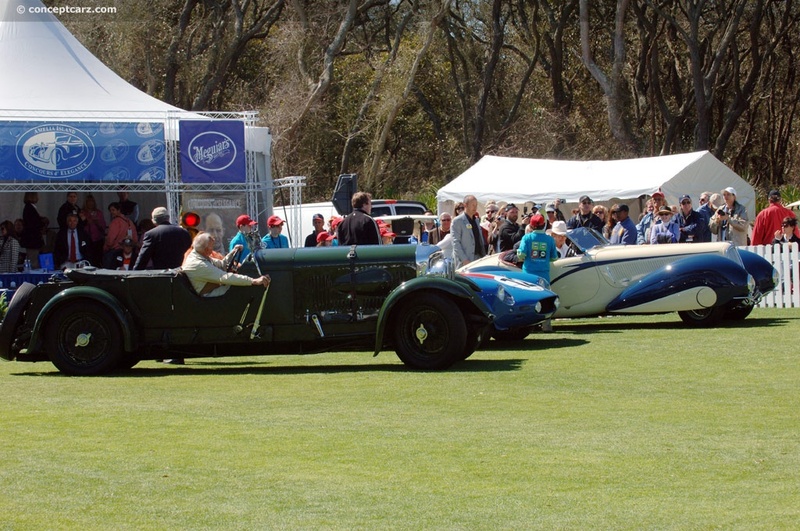 As the show cars were being brought onto the field, a very loud rumble began to emanate. 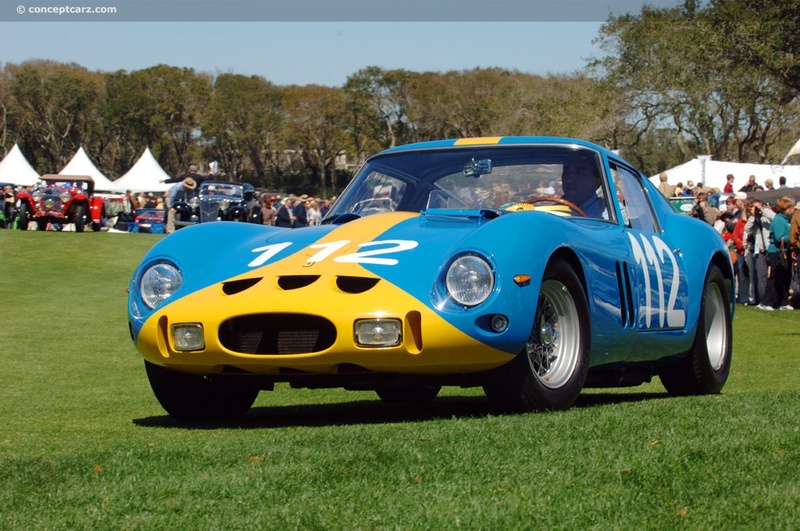 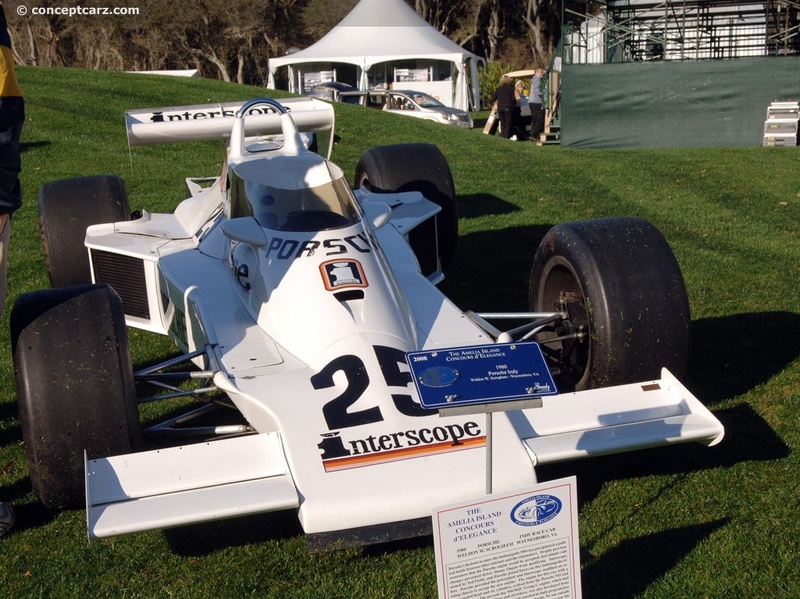 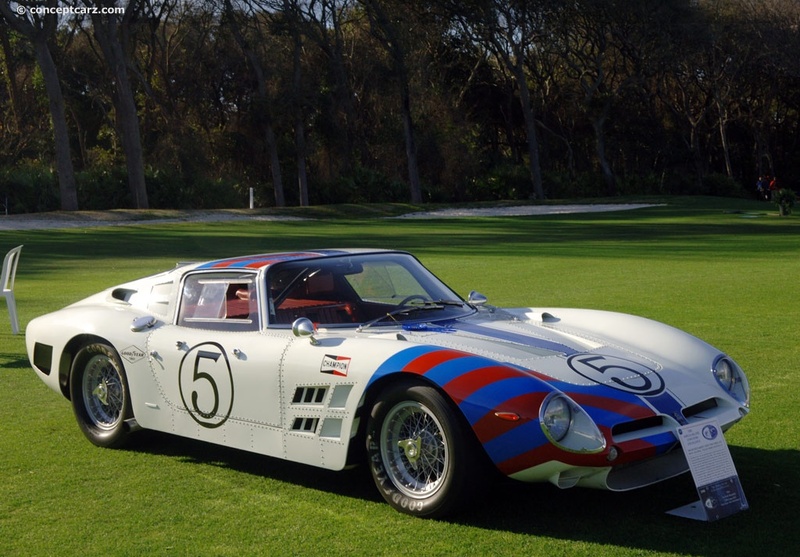 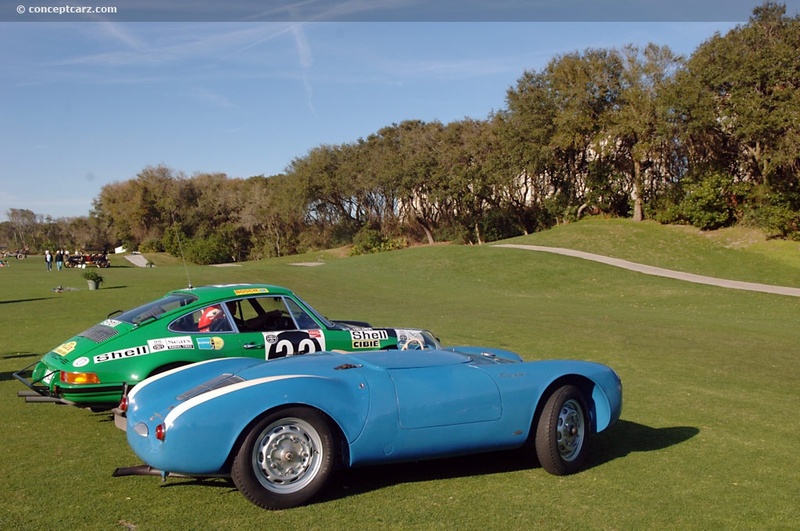 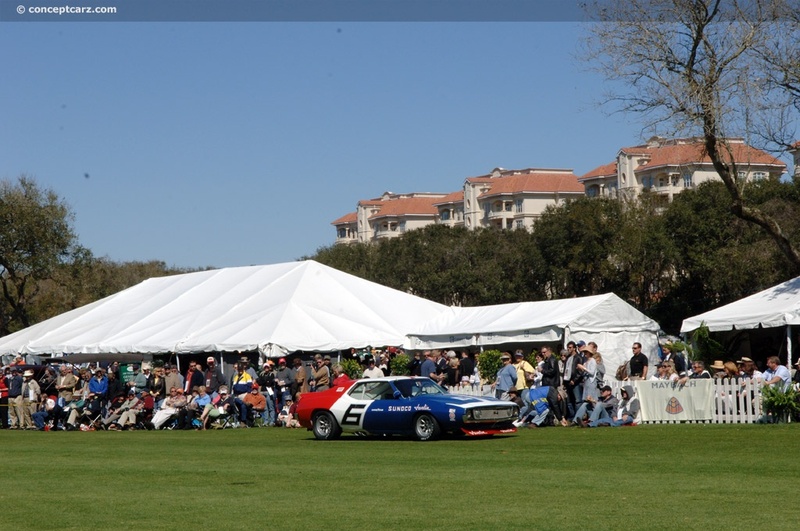 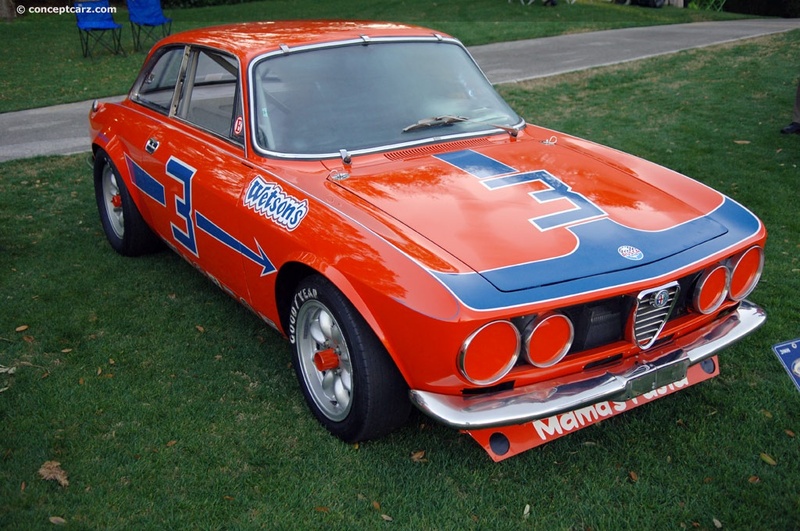 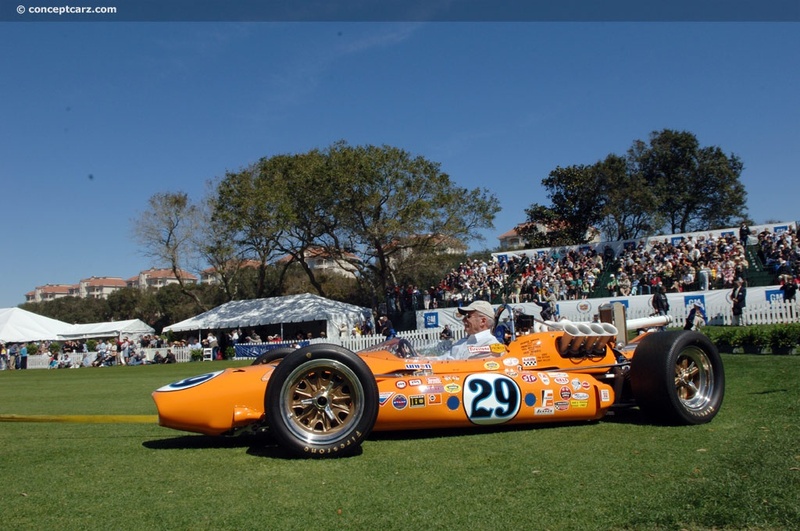 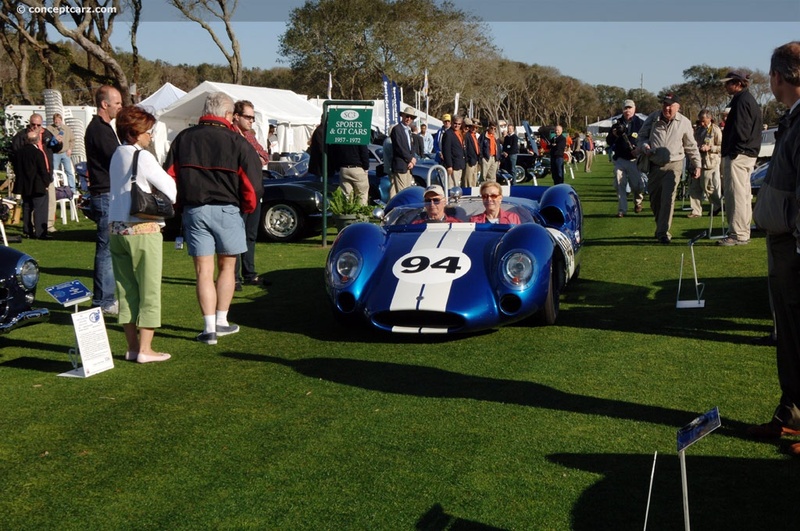 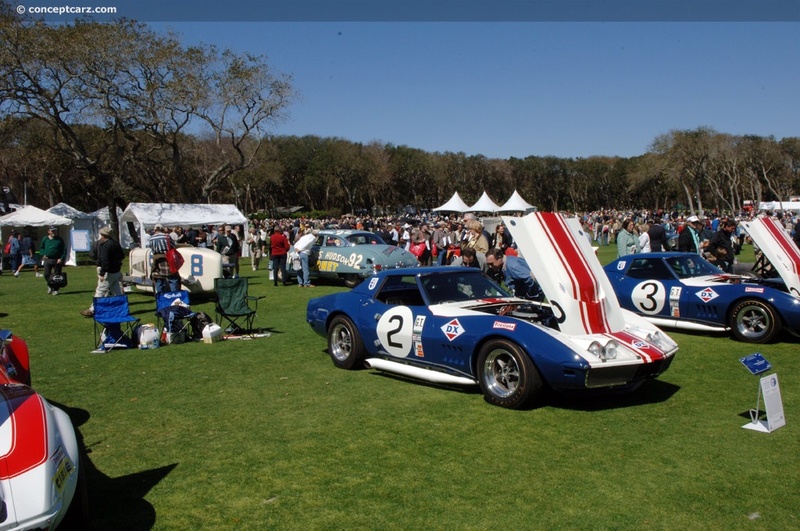 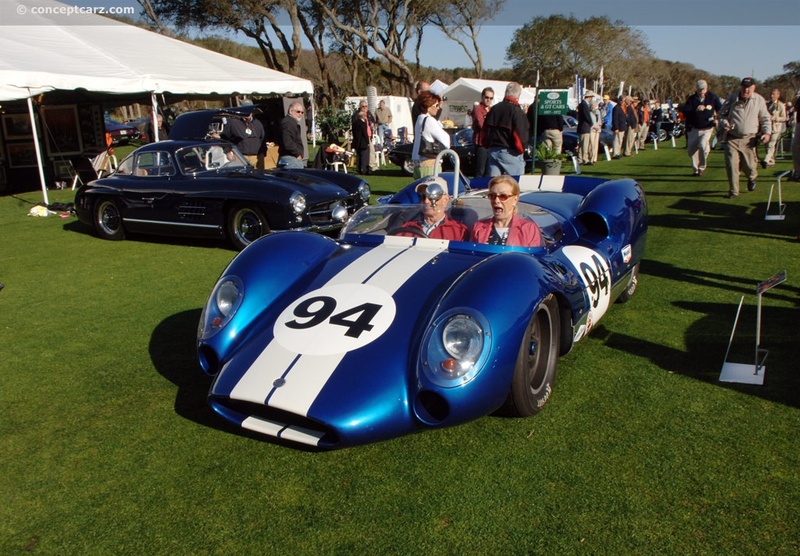 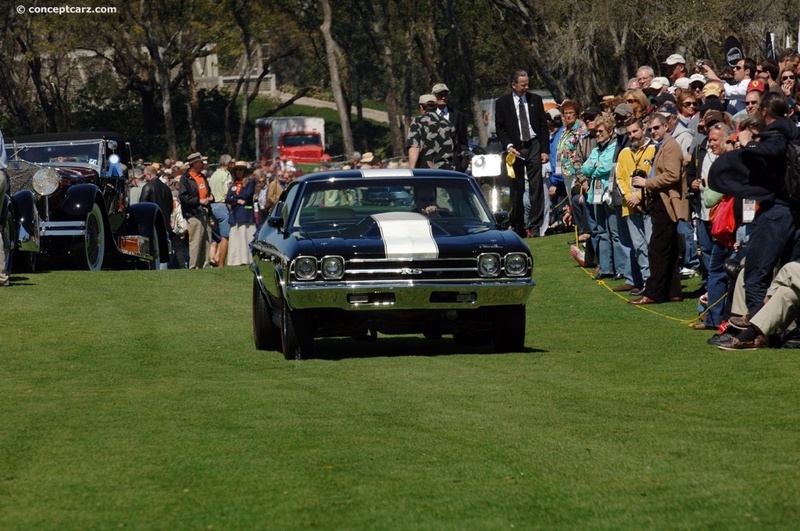 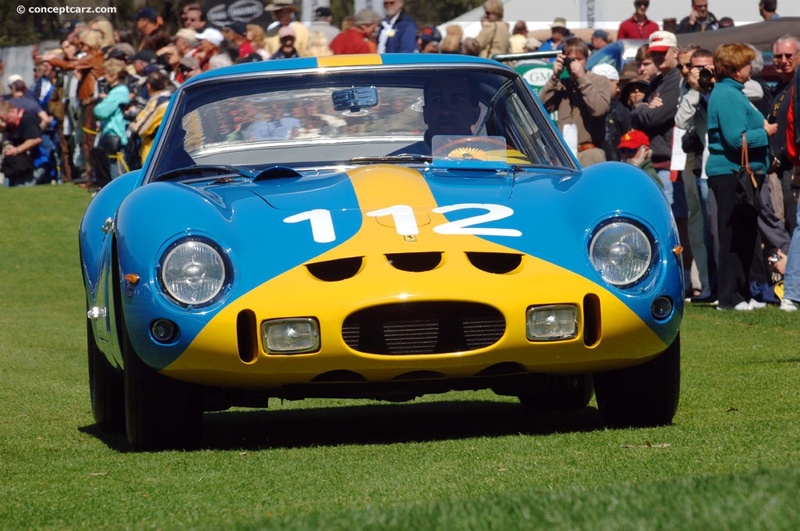 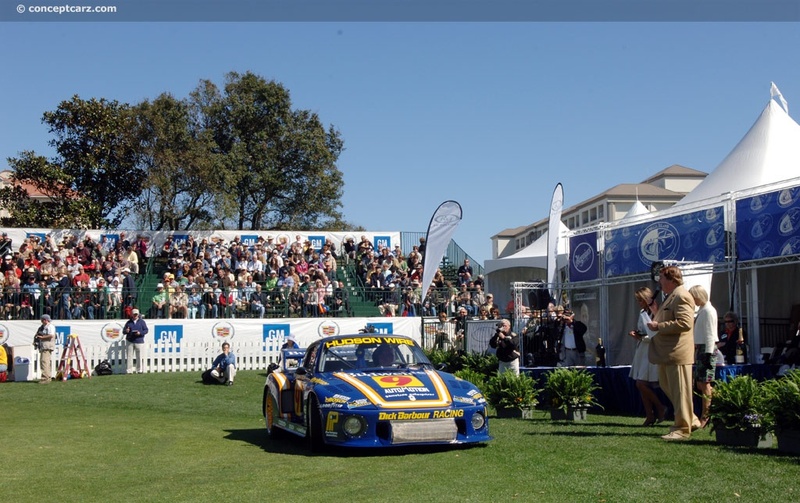 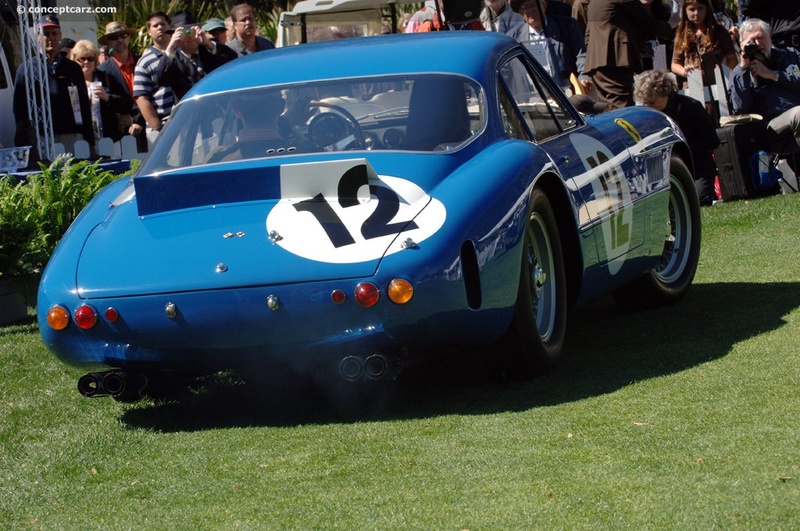 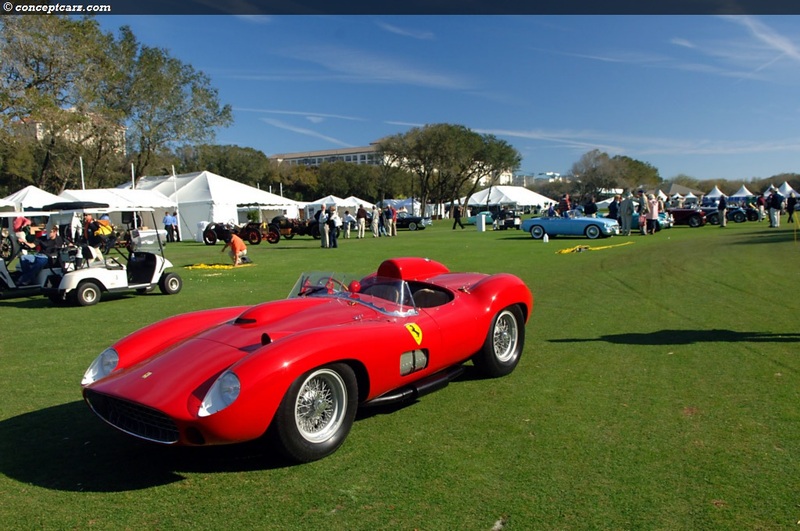 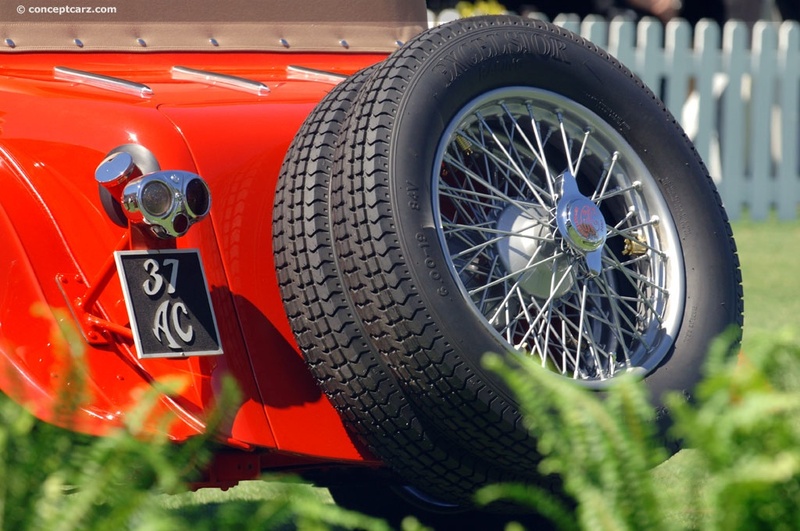 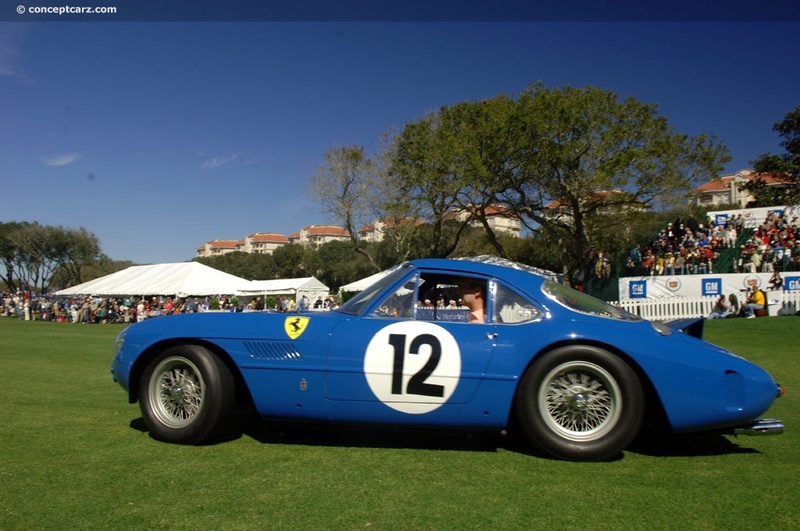 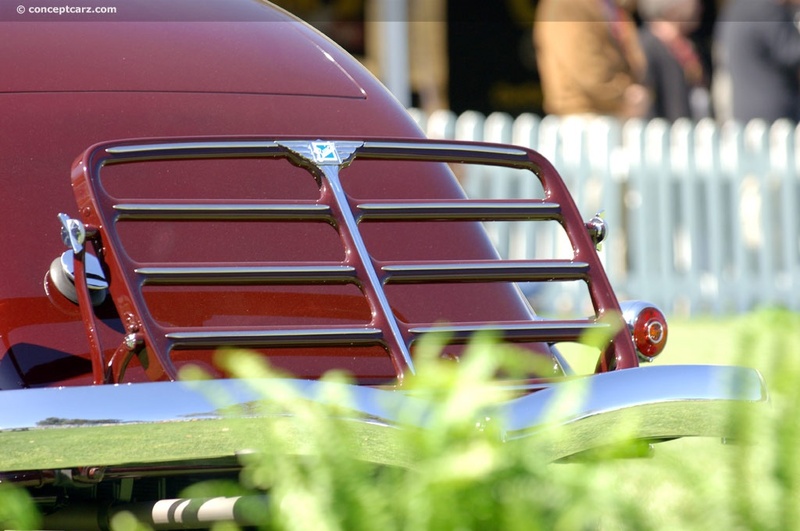 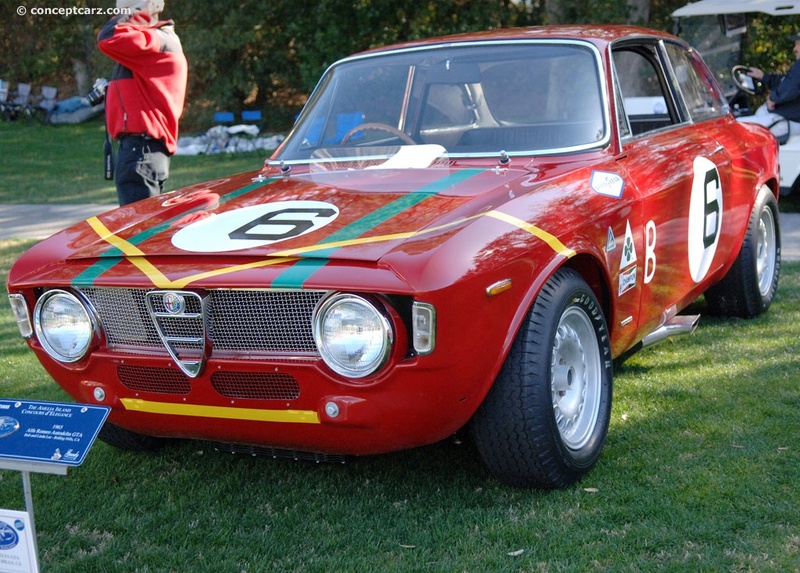 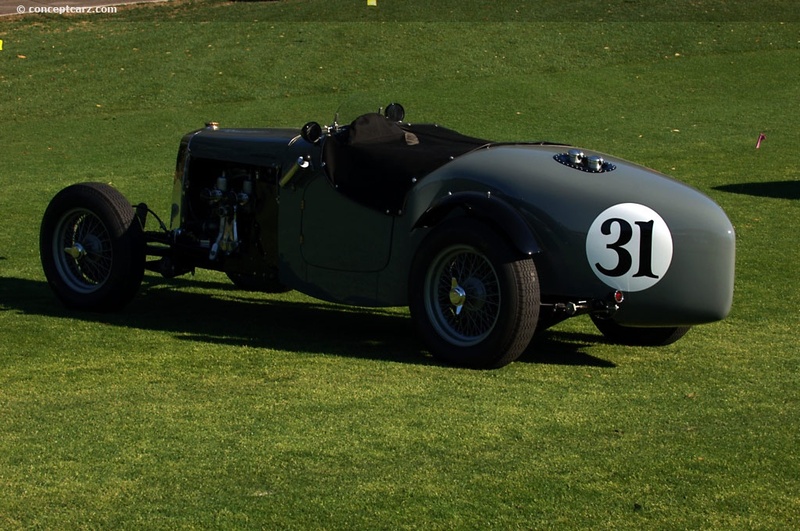 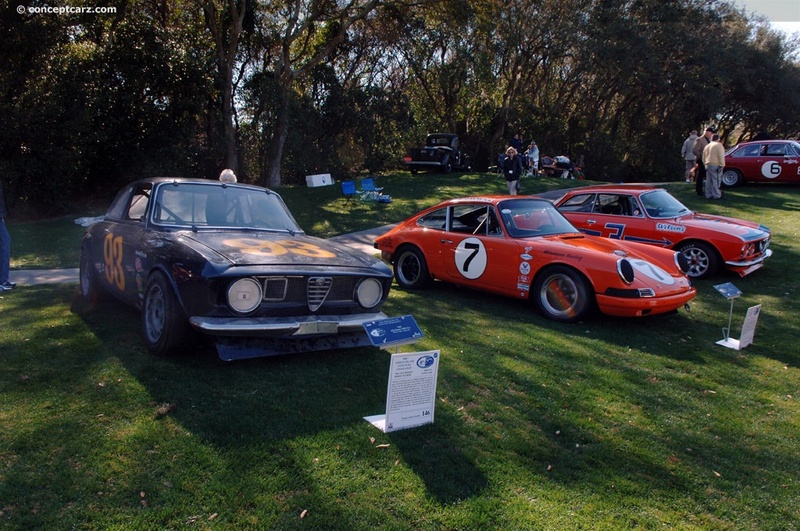 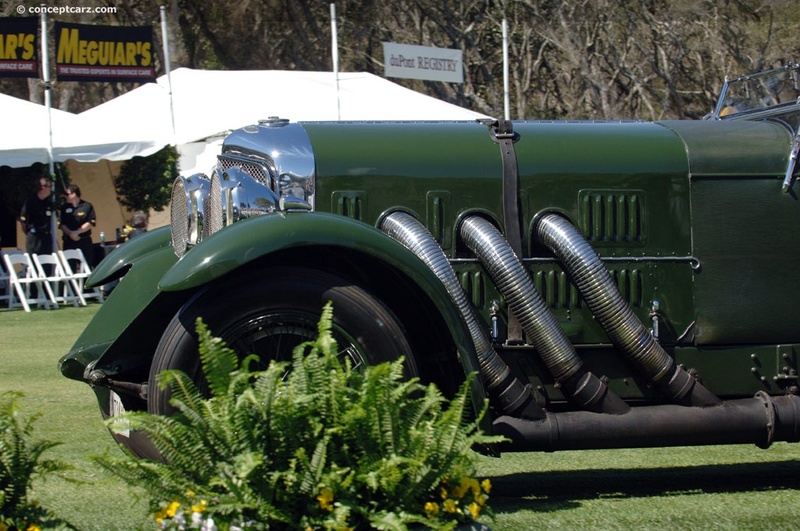 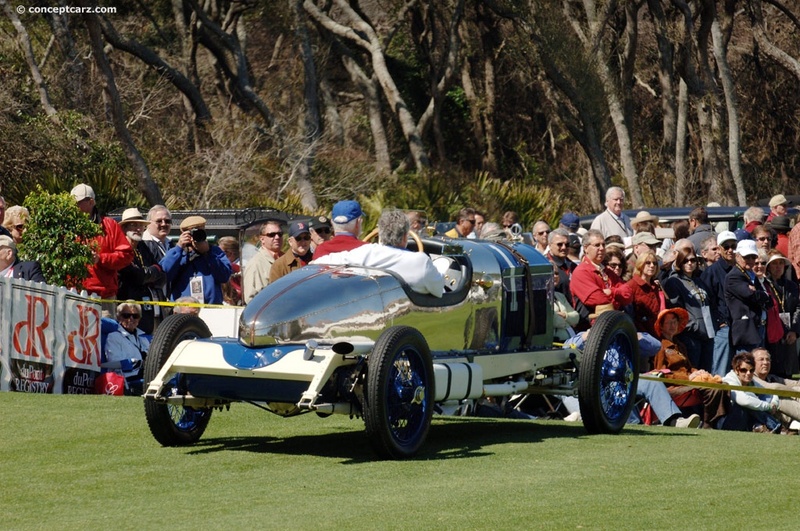 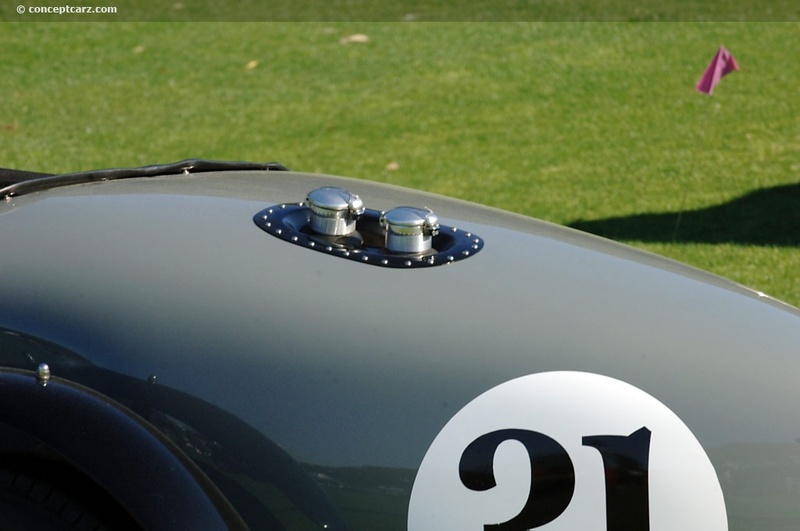 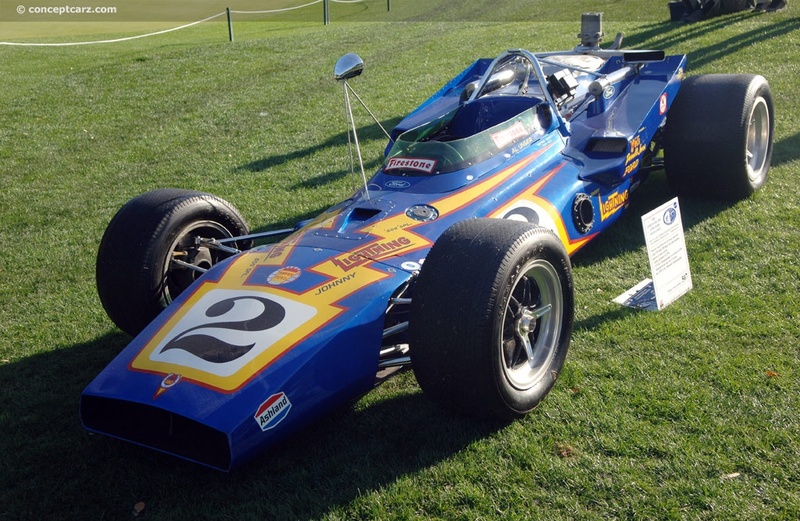 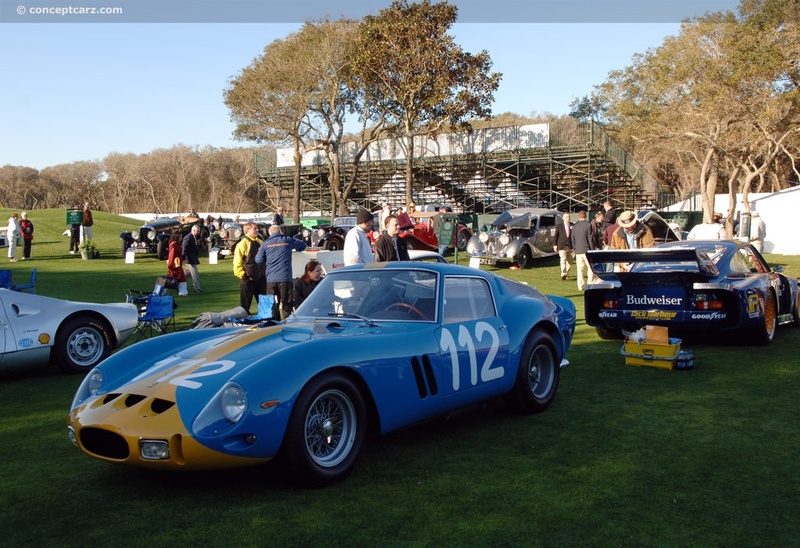 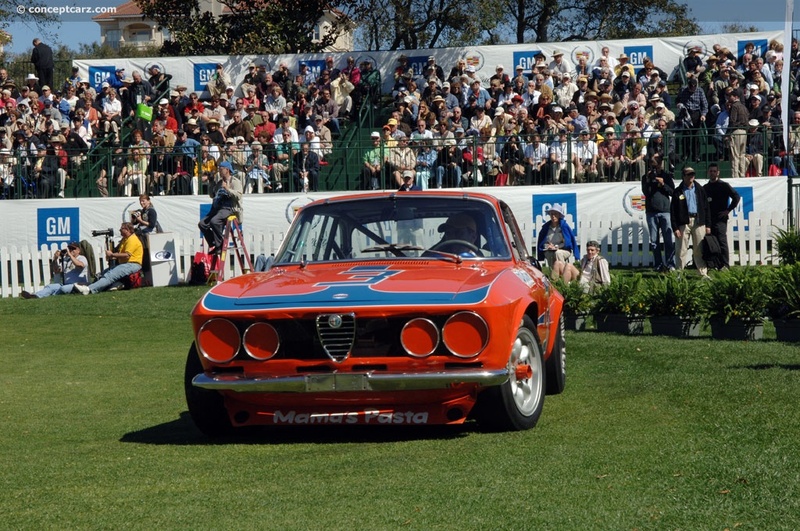 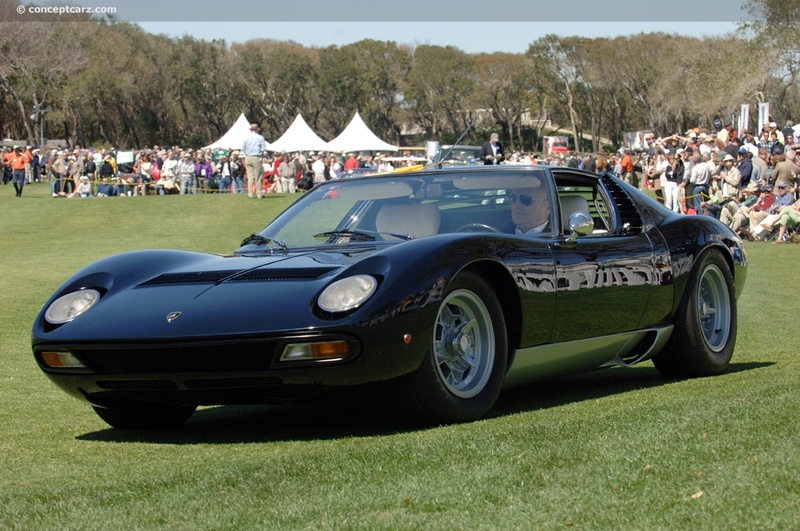 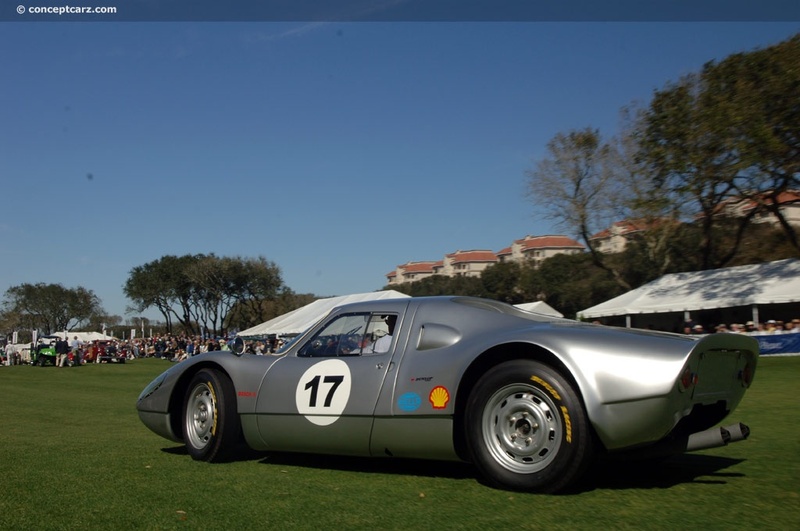 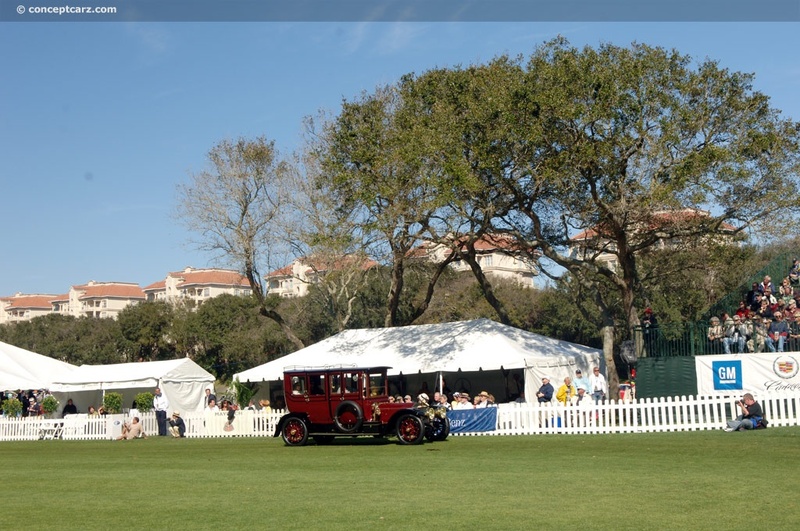 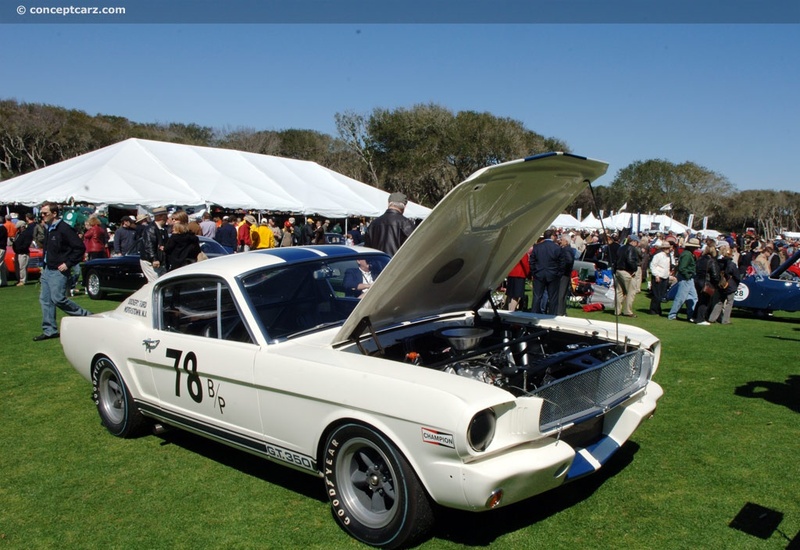 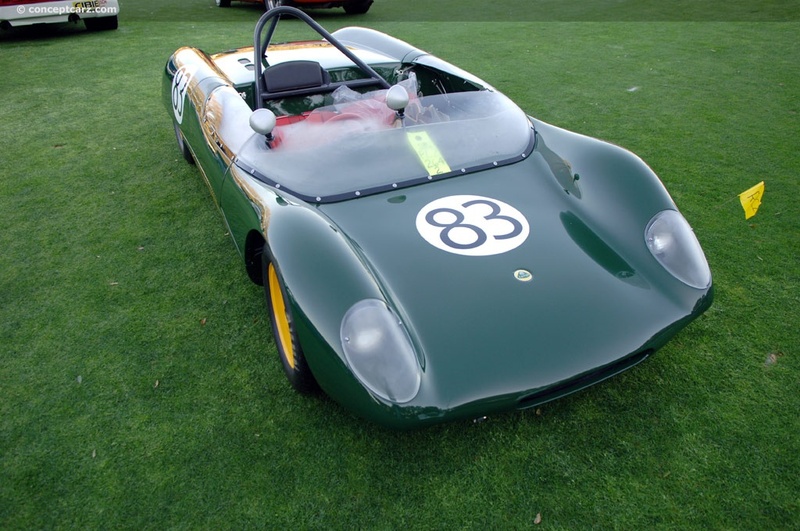 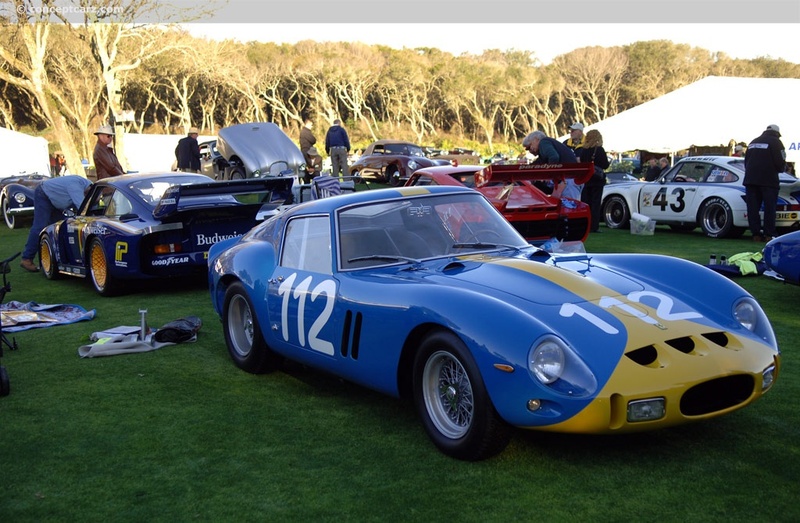 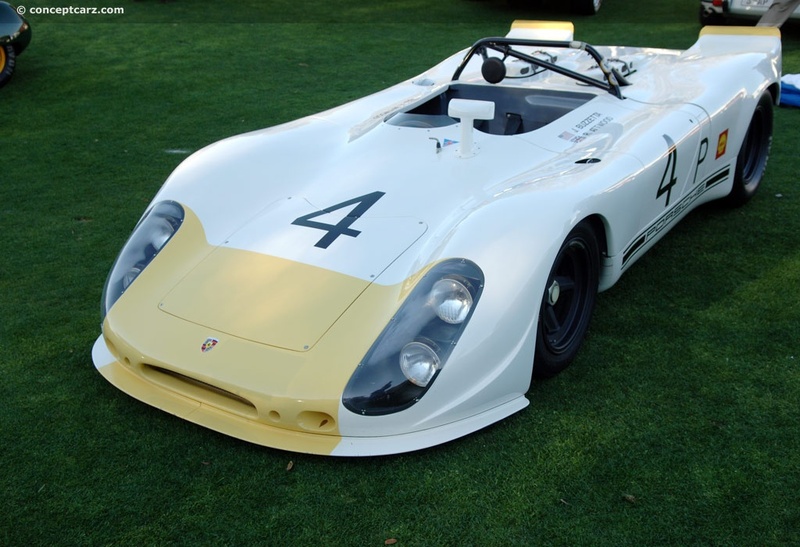 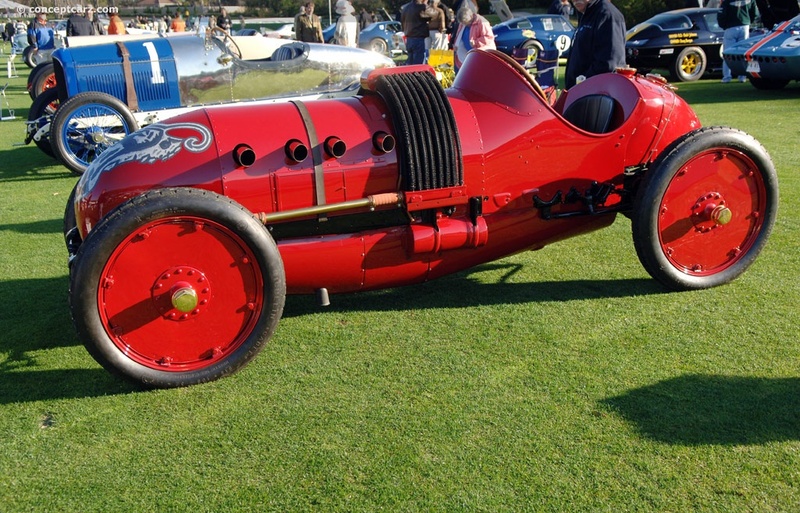 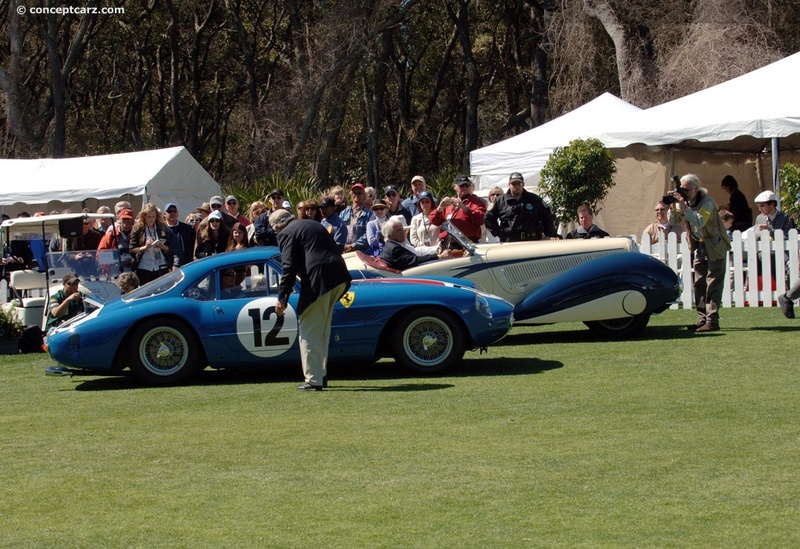 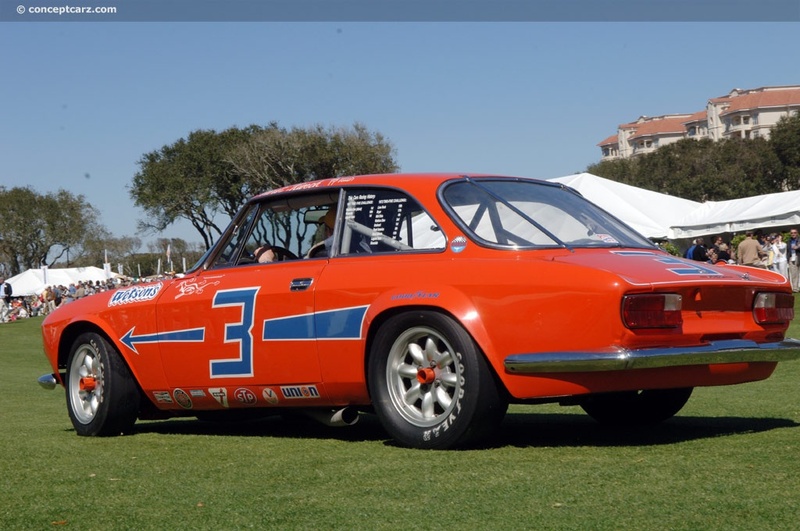 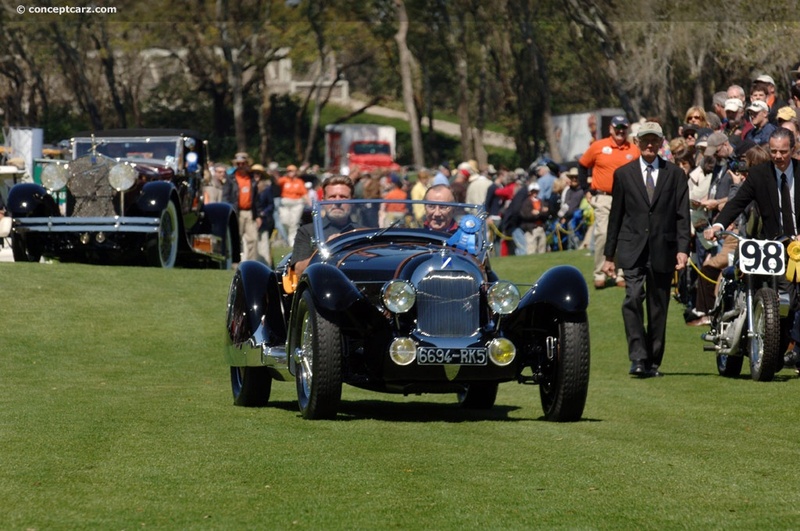 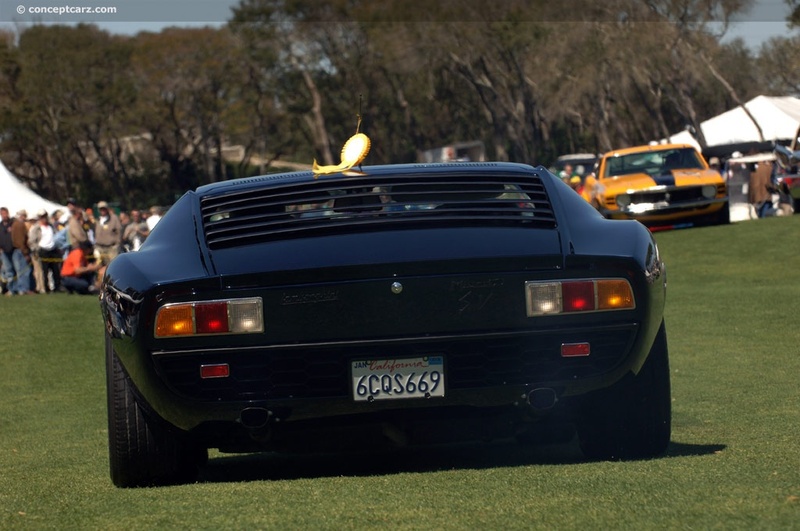 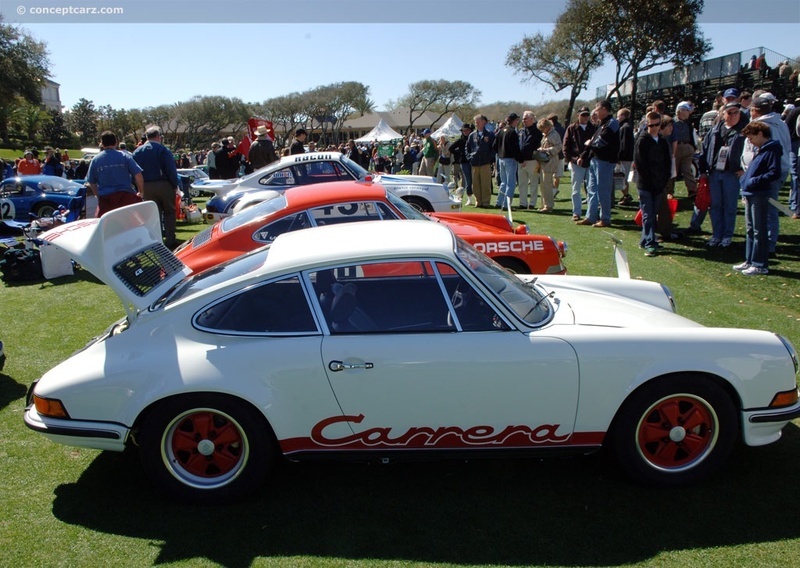 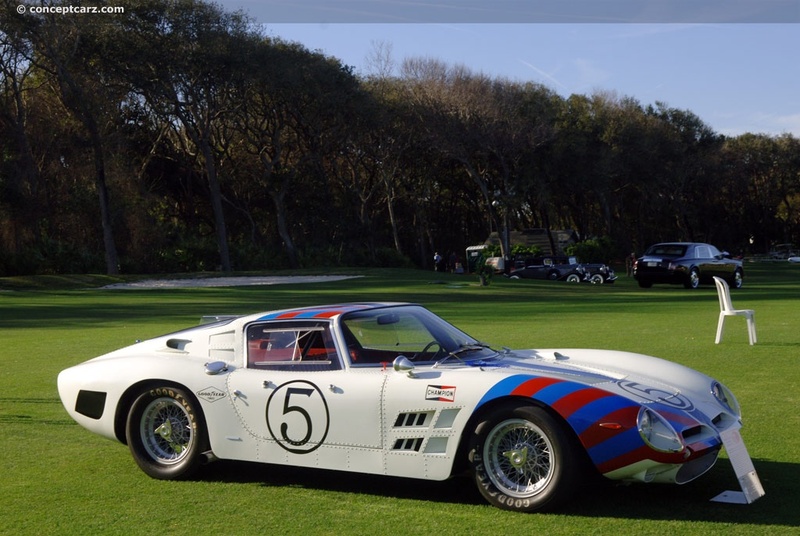 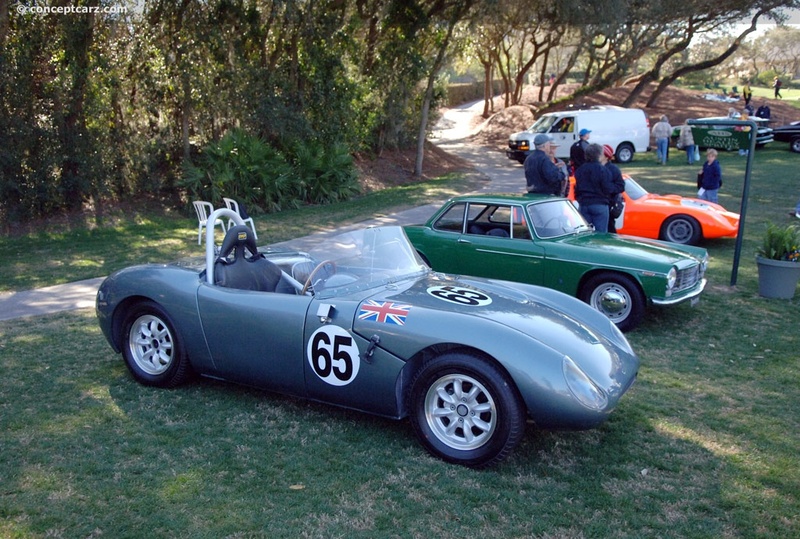 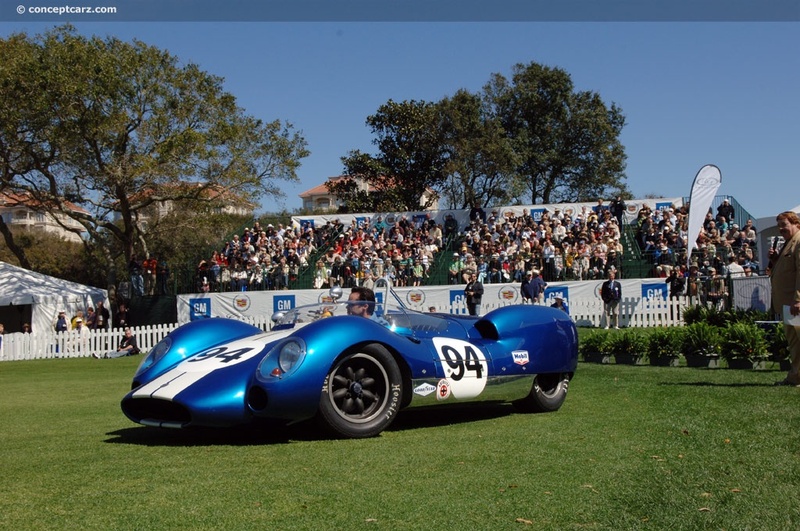 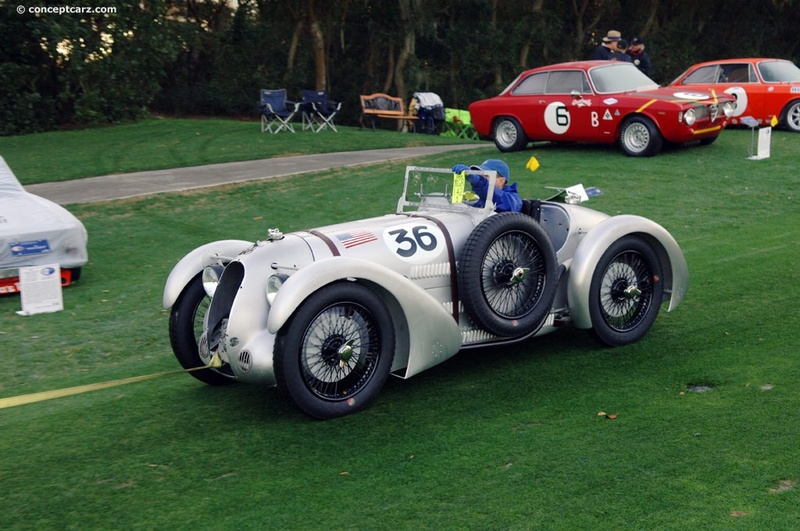 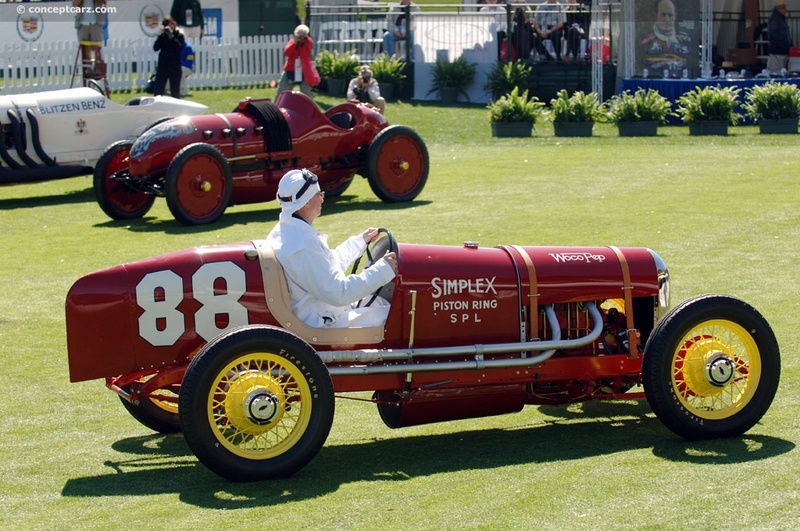 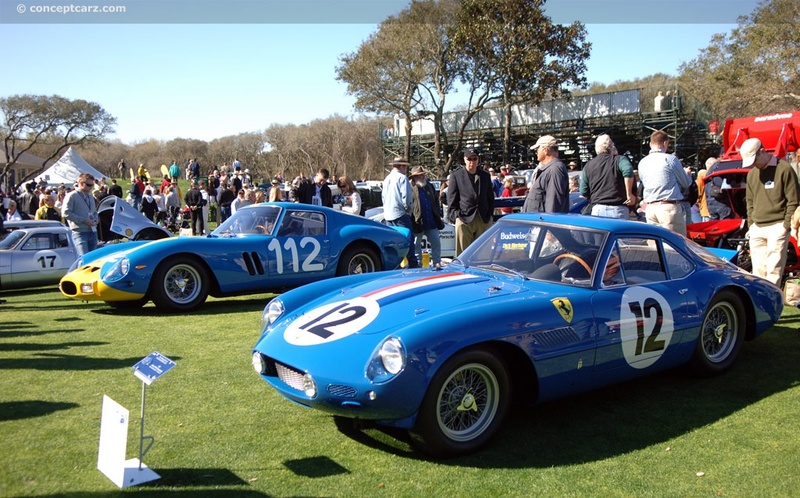 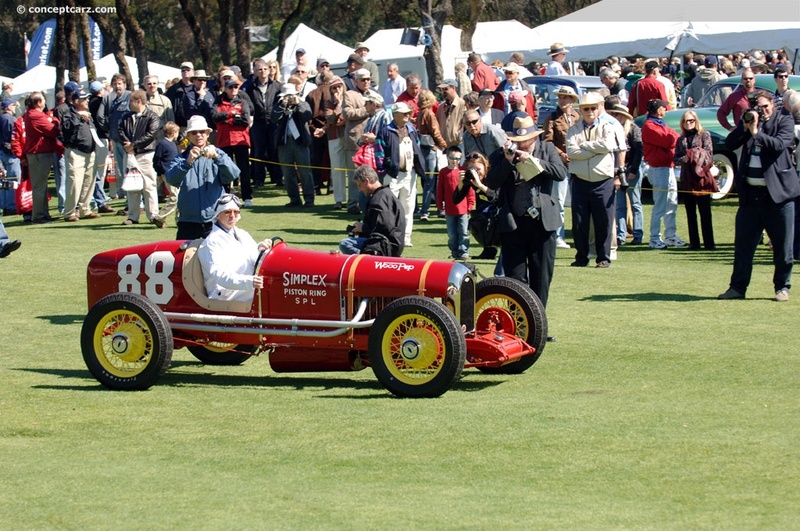 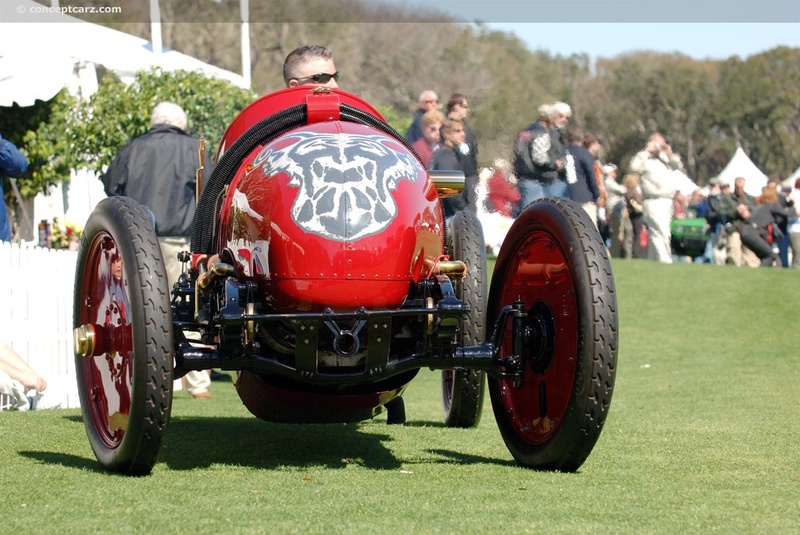 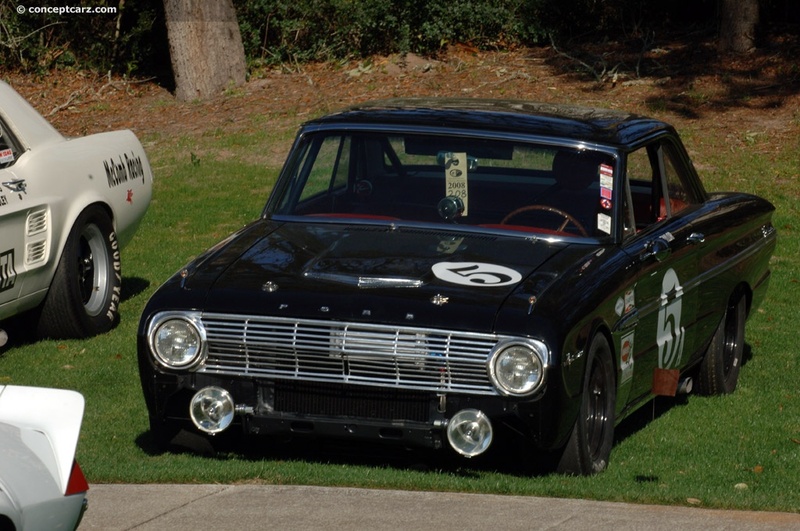 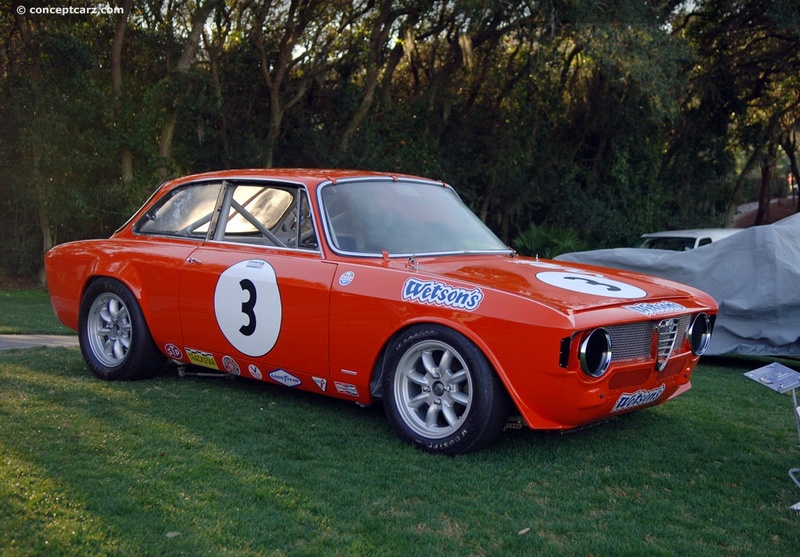 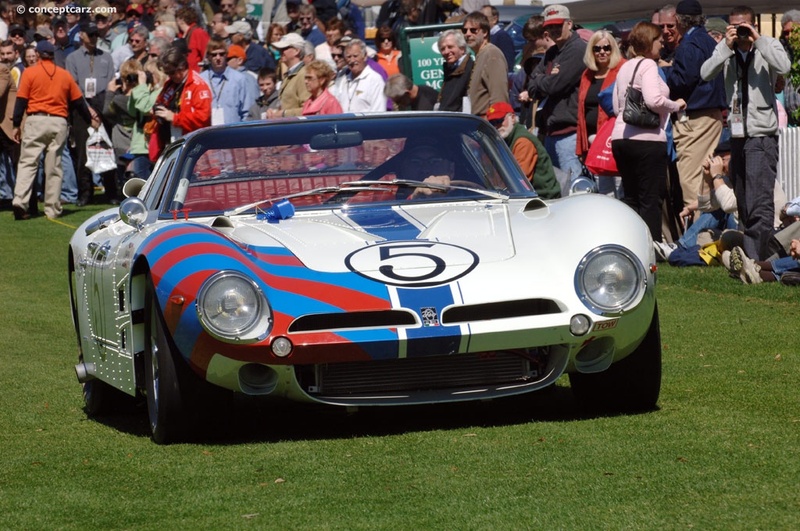 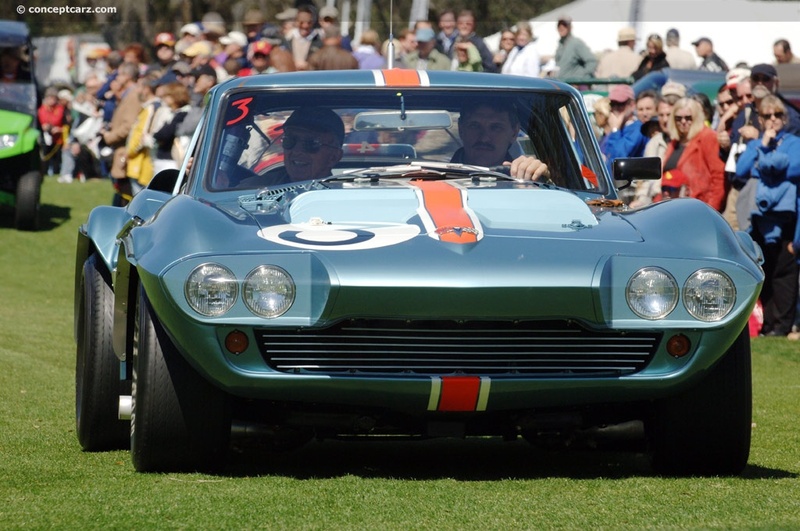 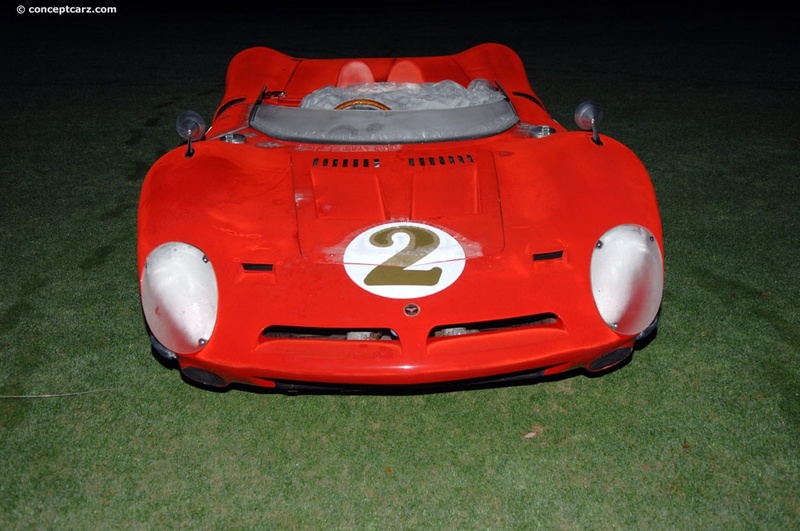 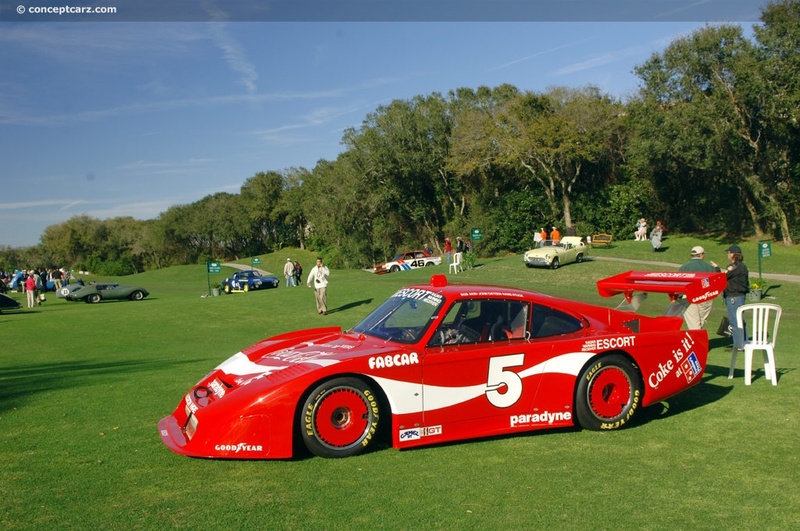 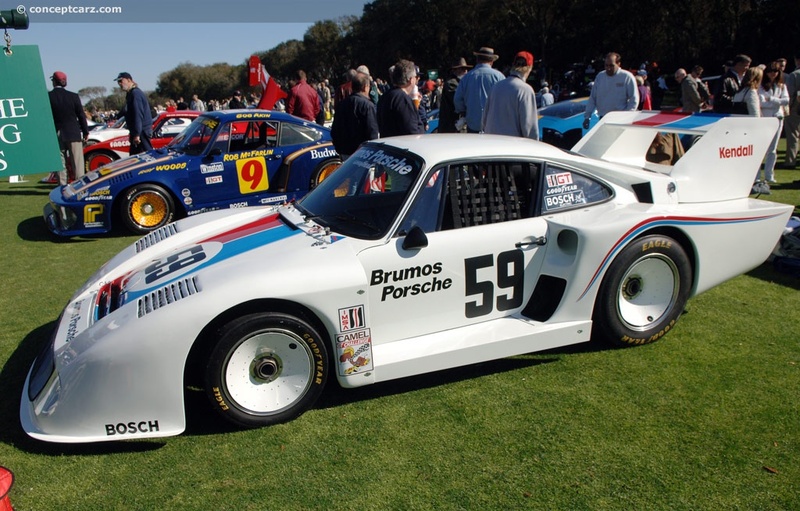 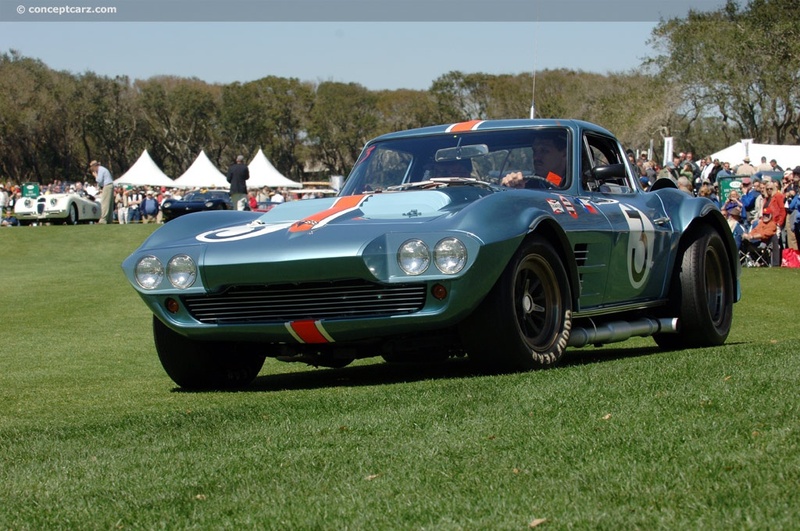 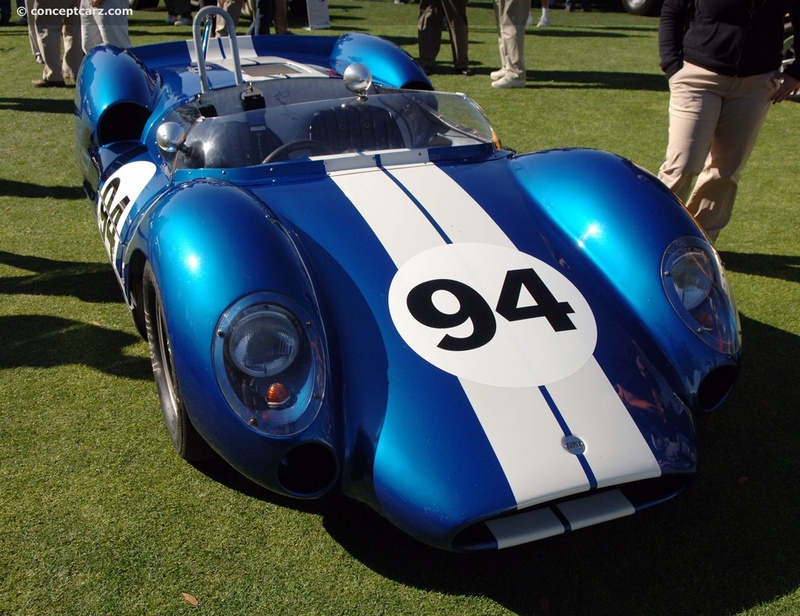 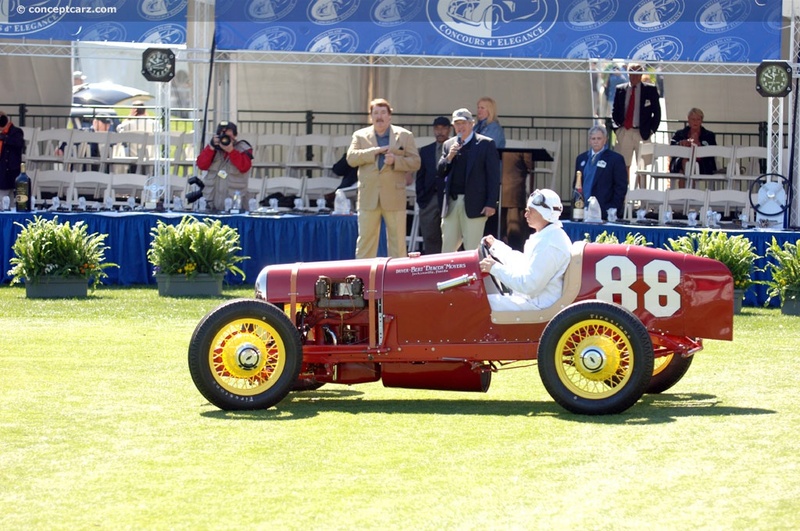 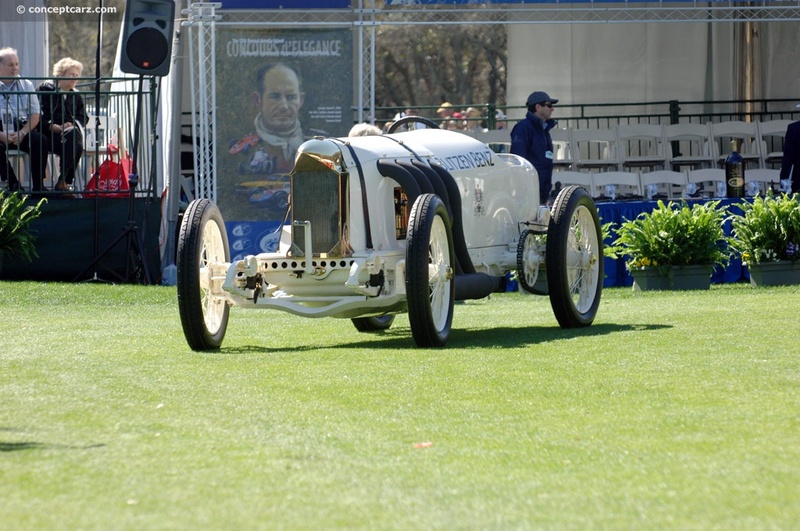 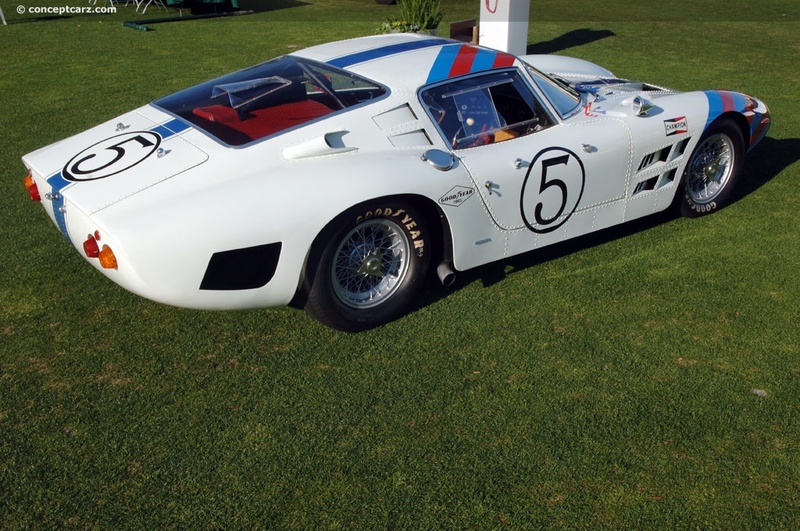 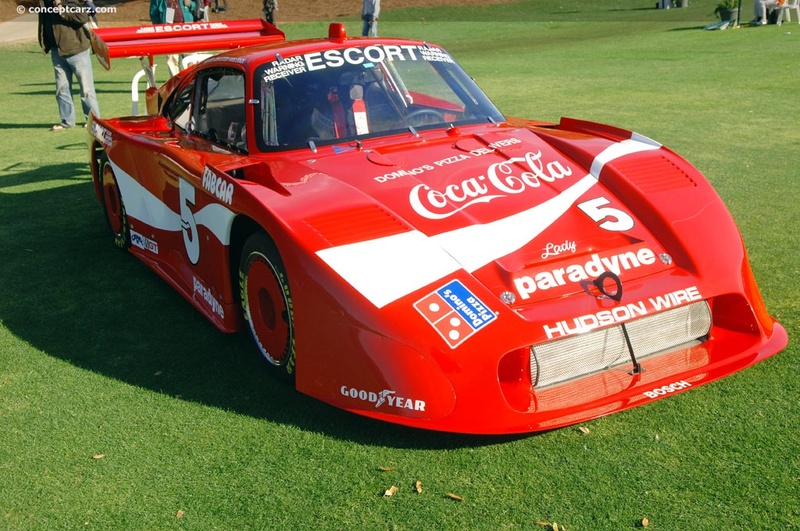 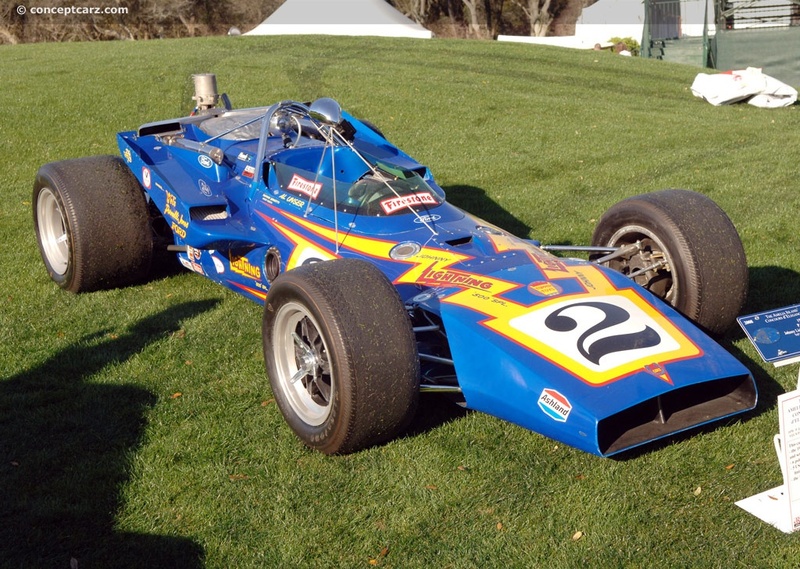 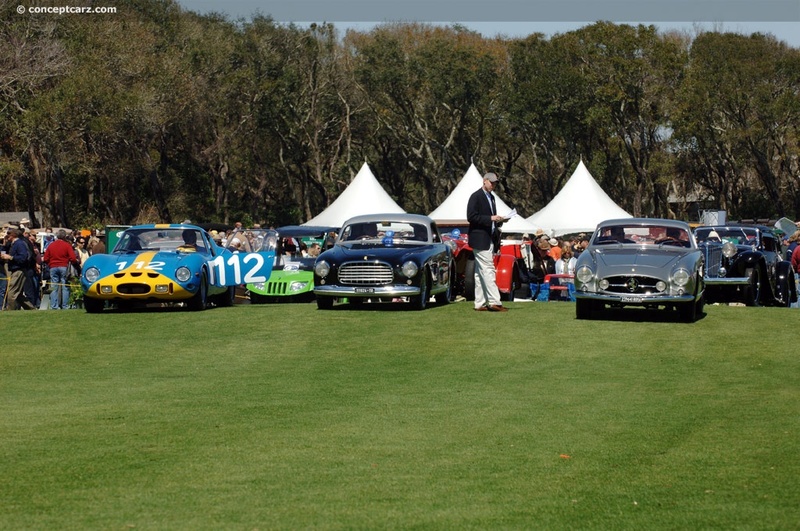 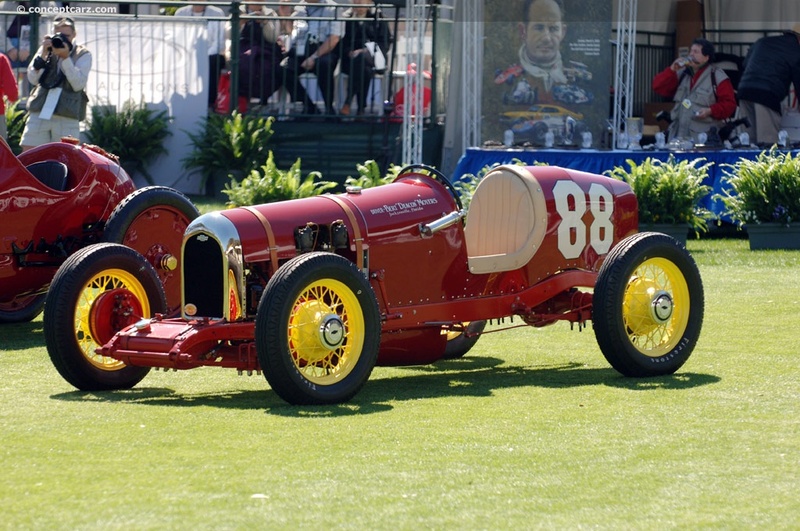 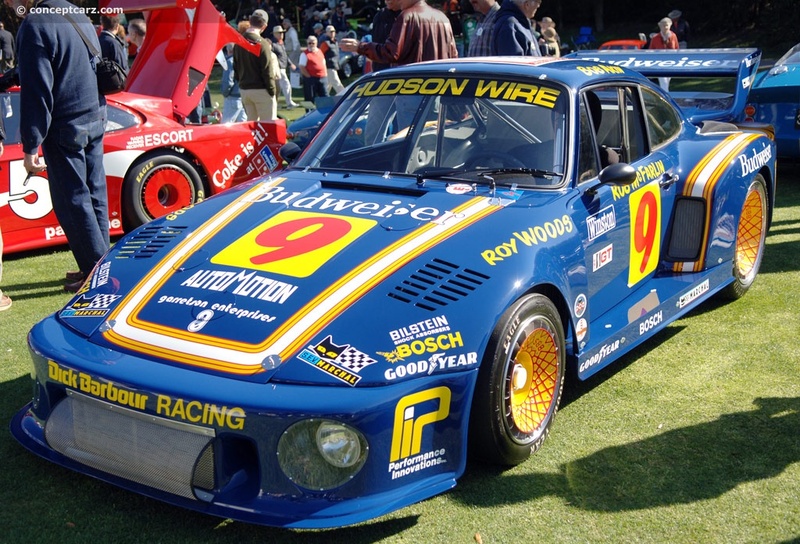 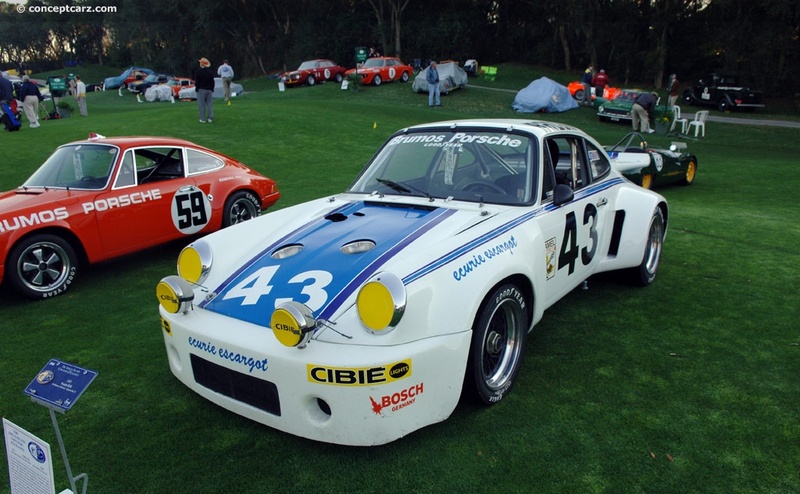 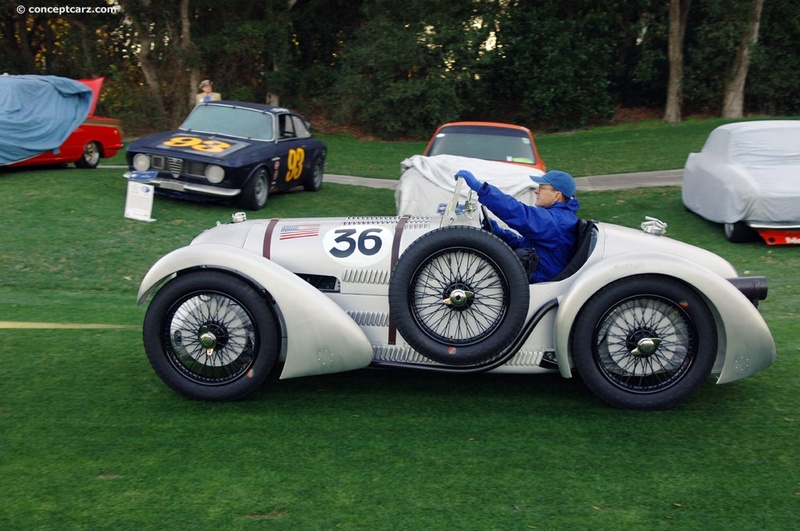 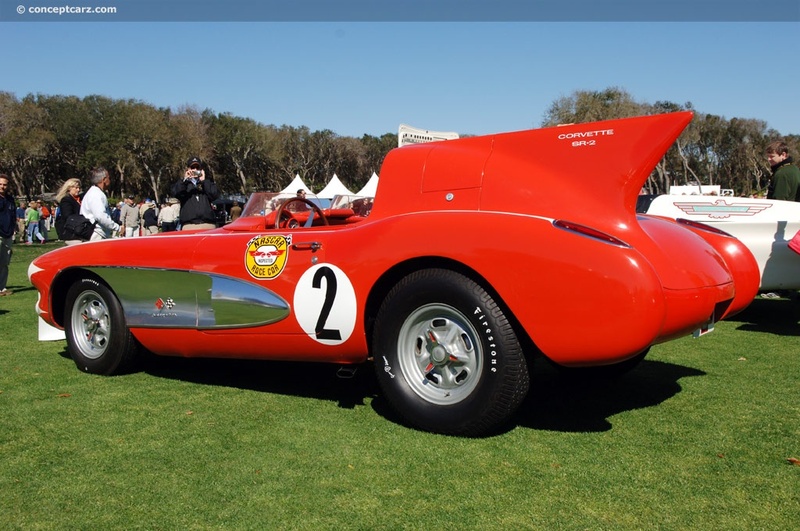 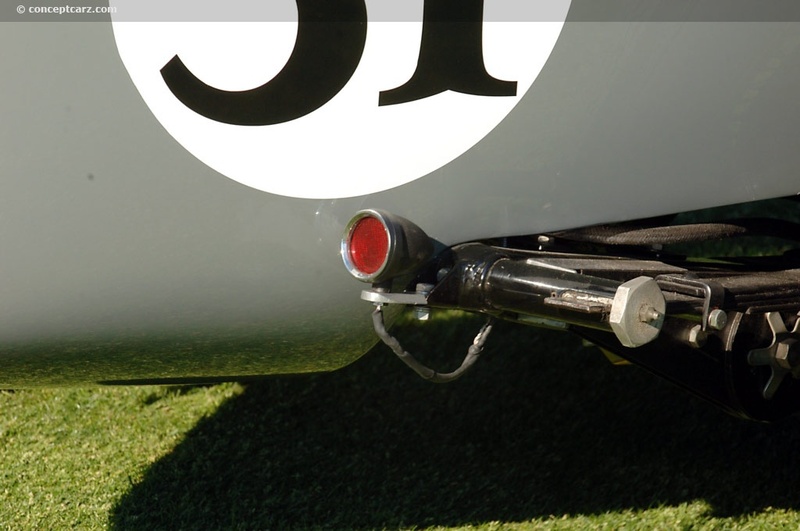 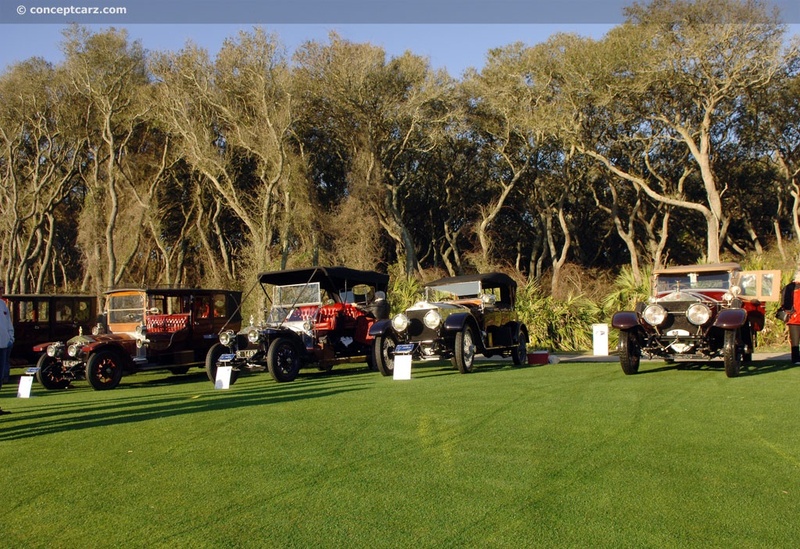 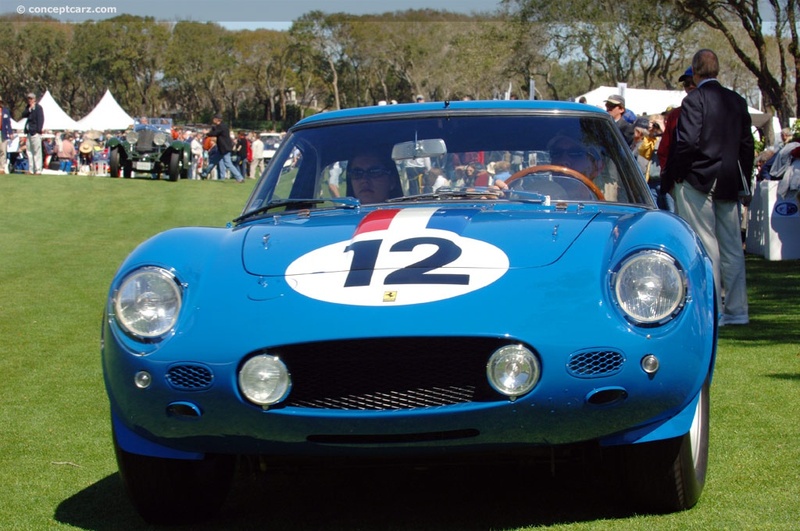 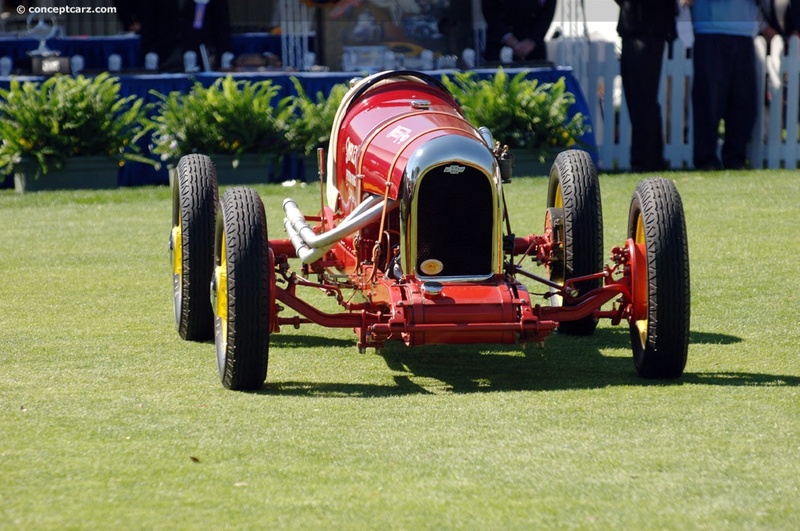 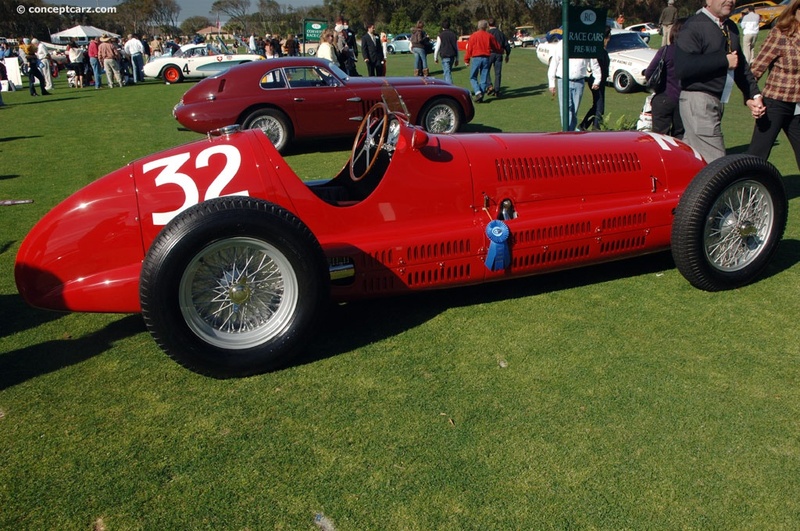 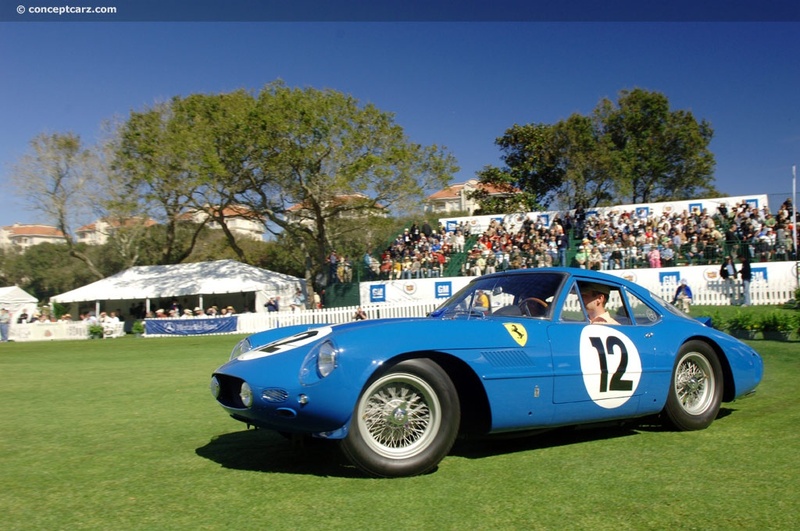 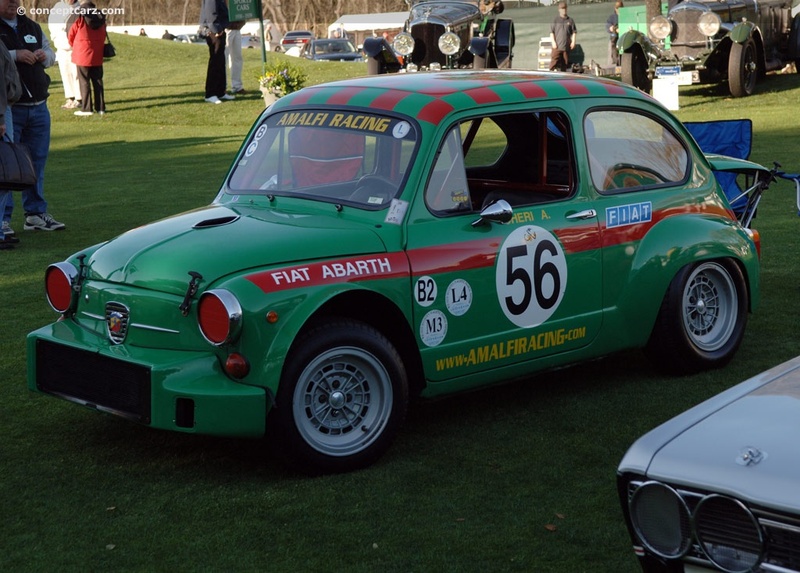 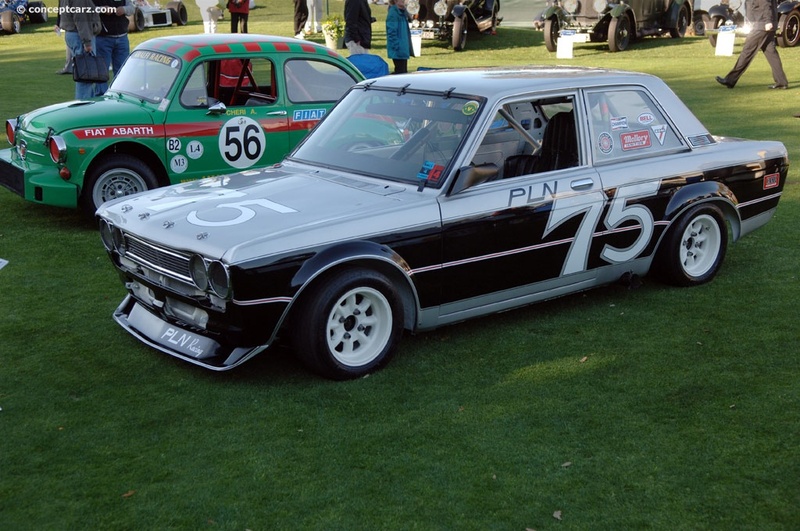 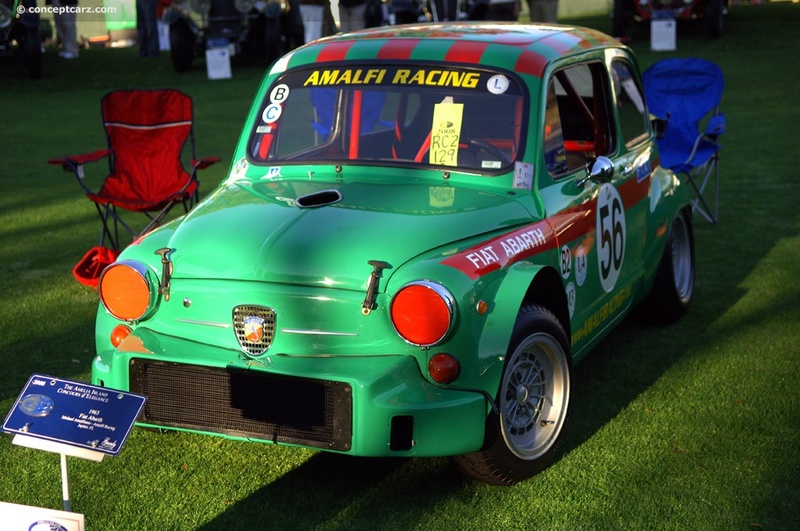 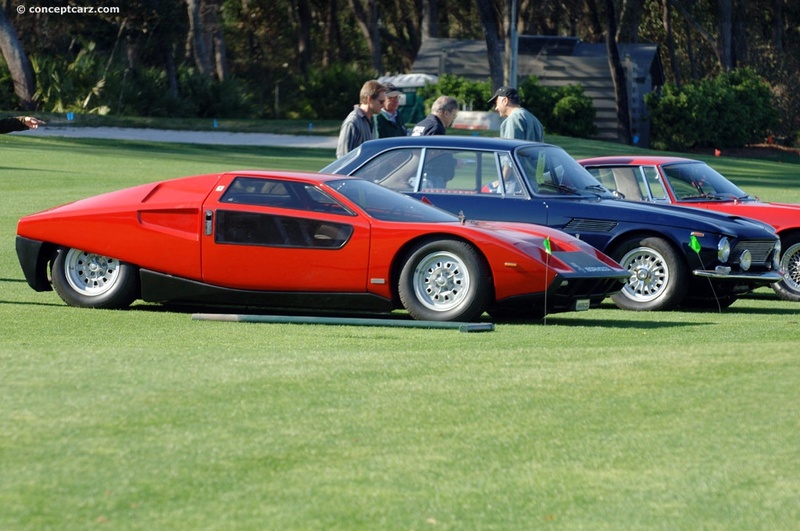 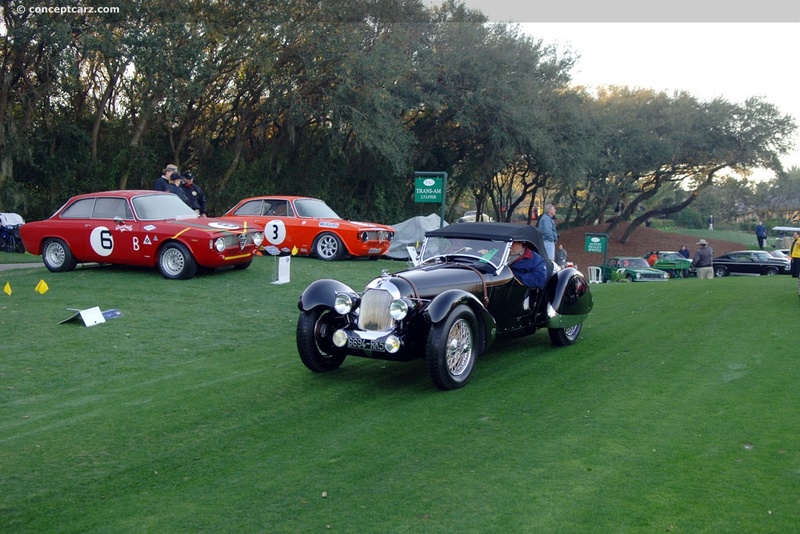 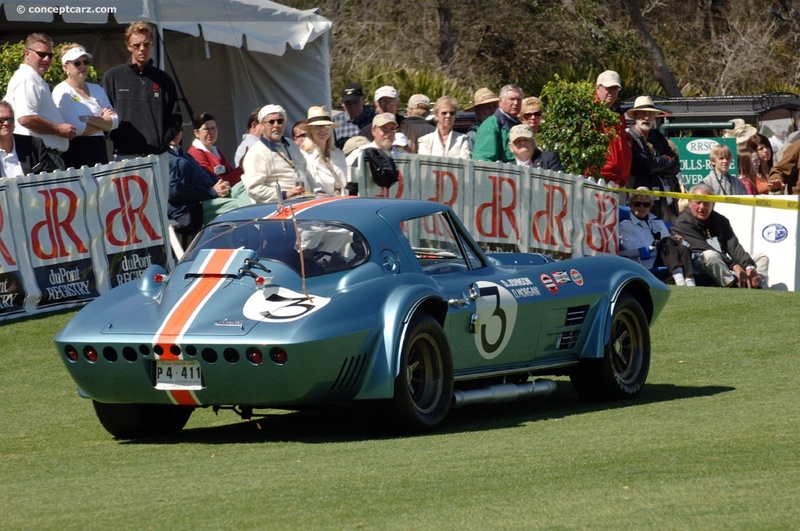 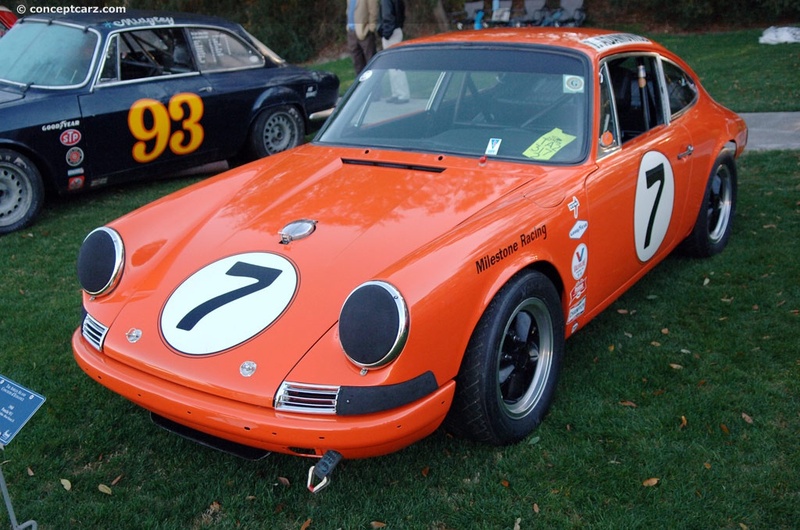 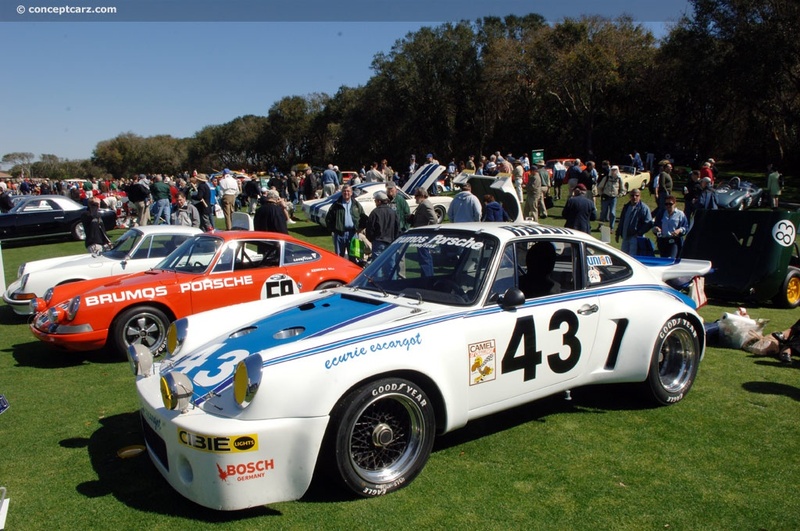 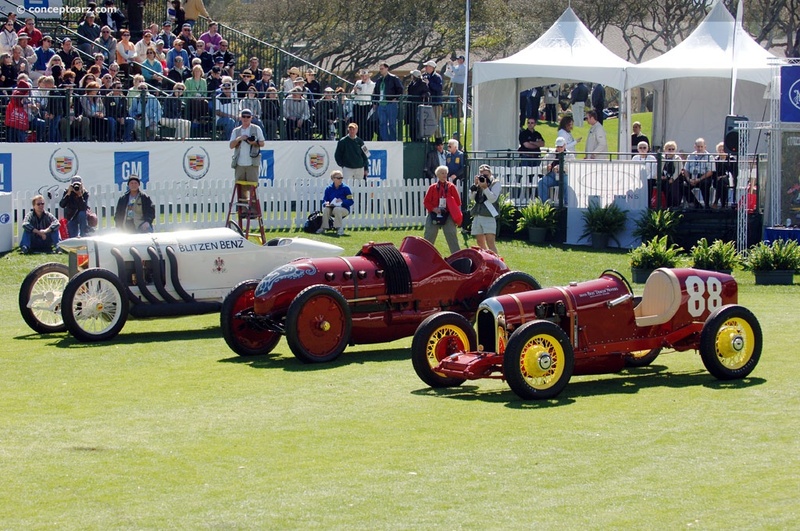 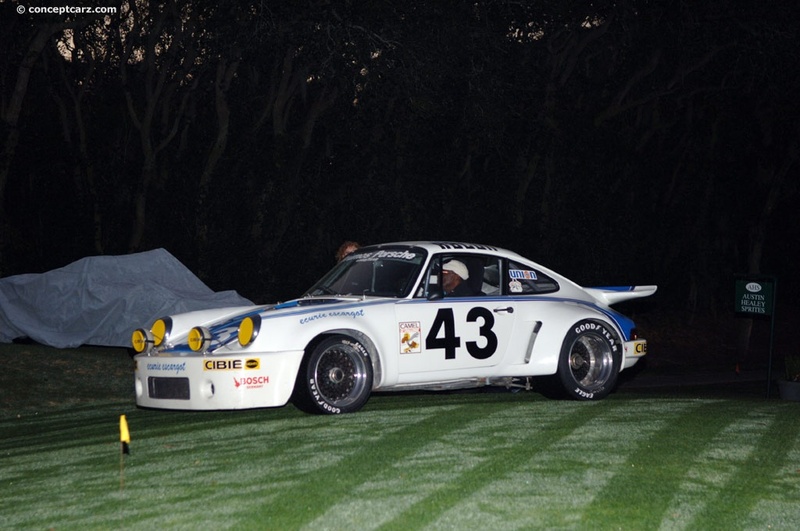 If racing improves the breed, then the Amelia Island Concours is the finest. 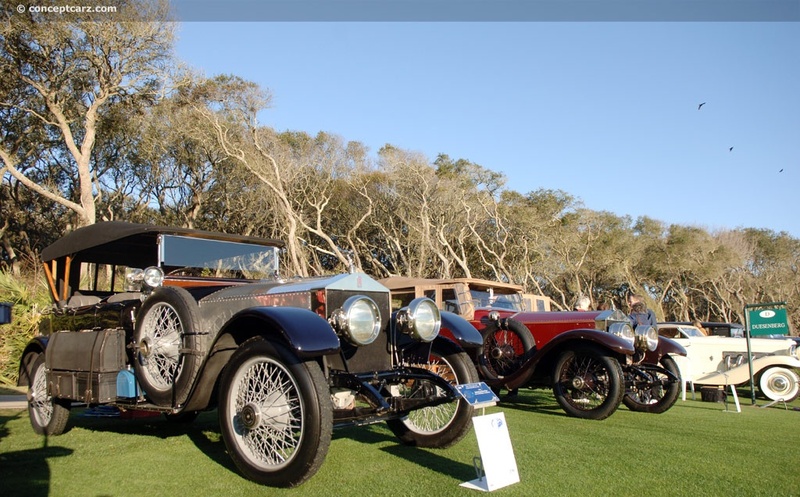 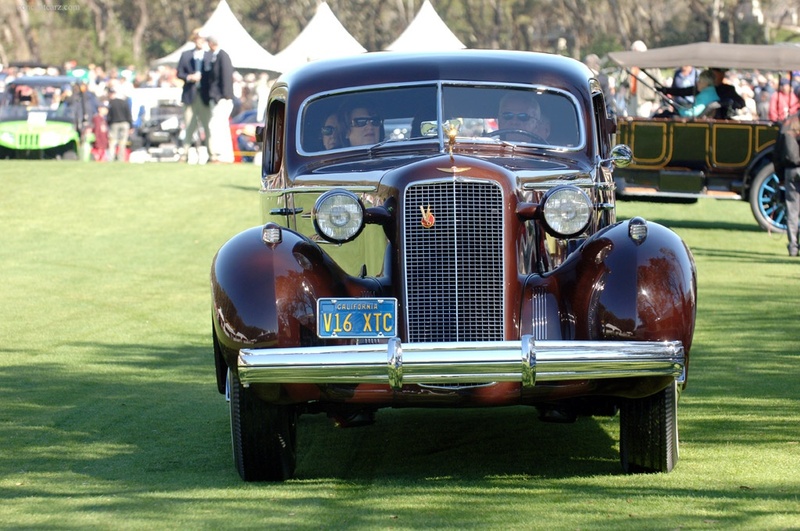 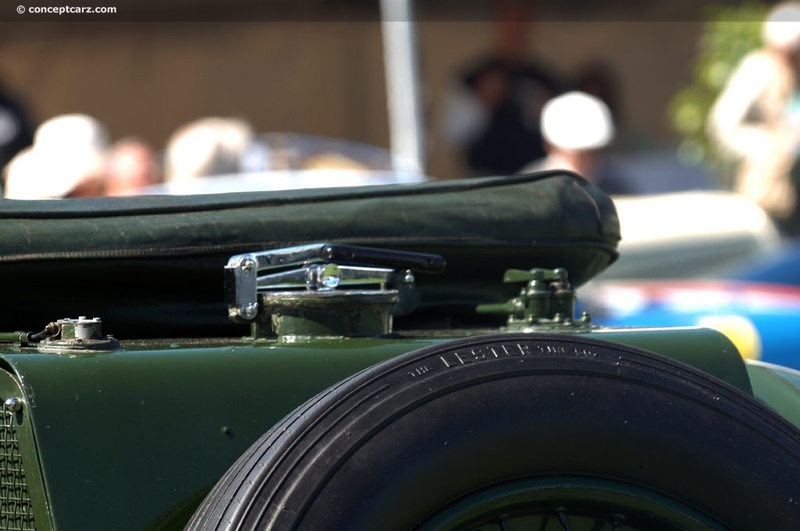 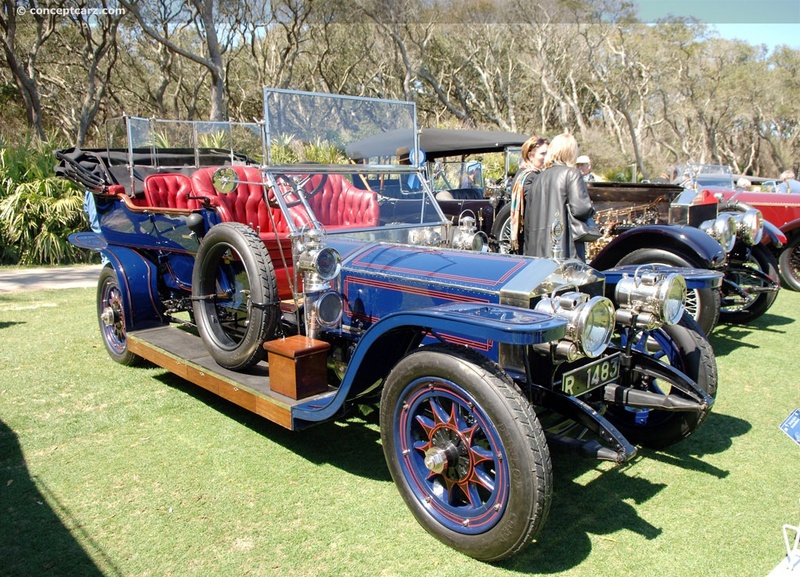 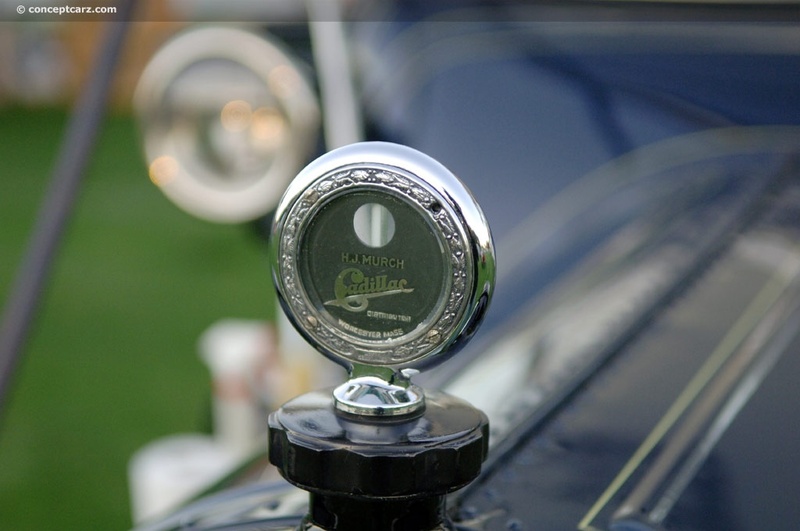 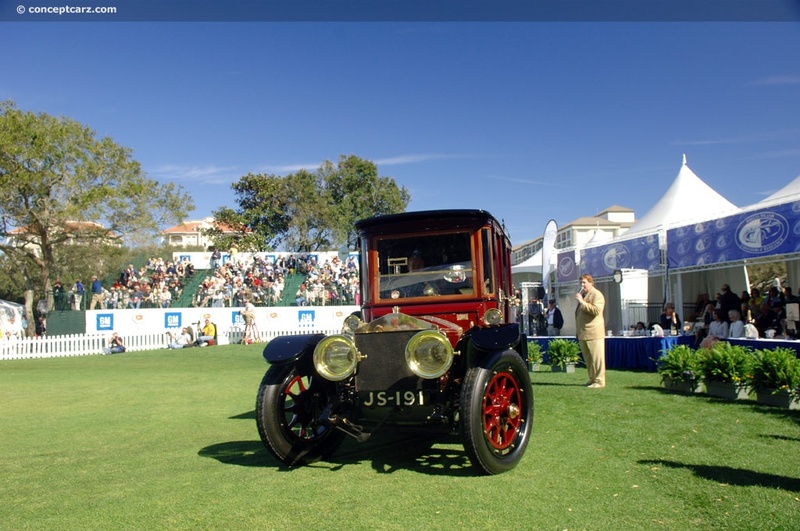 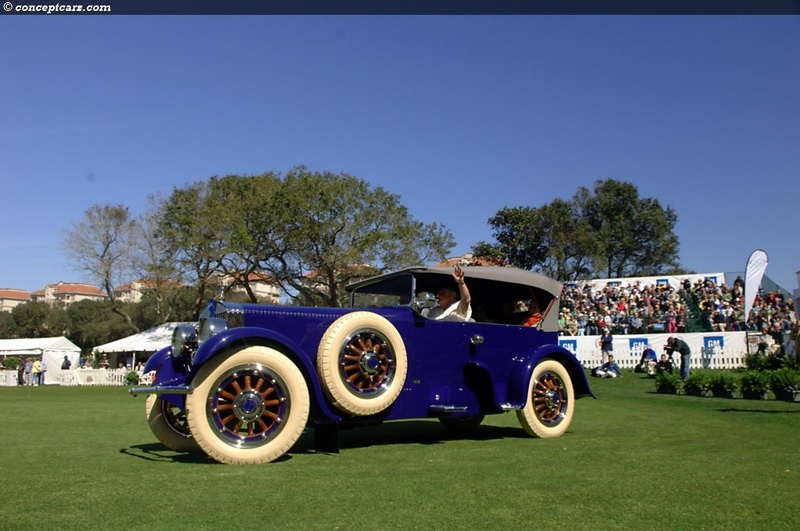 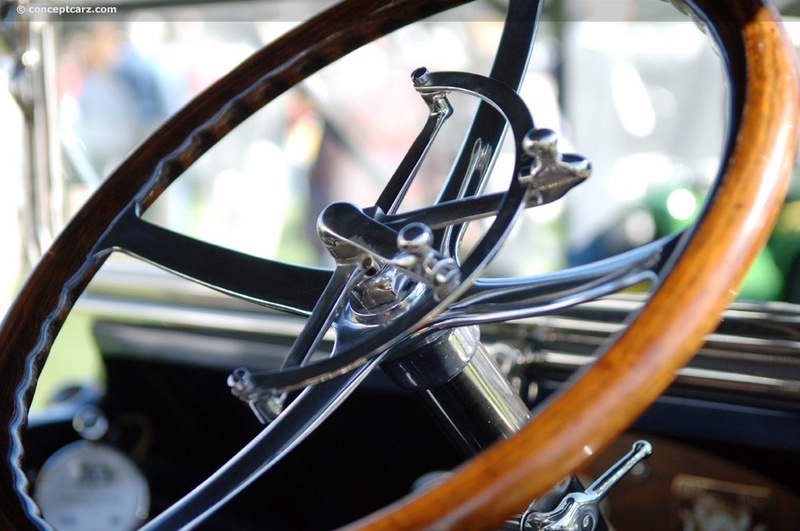 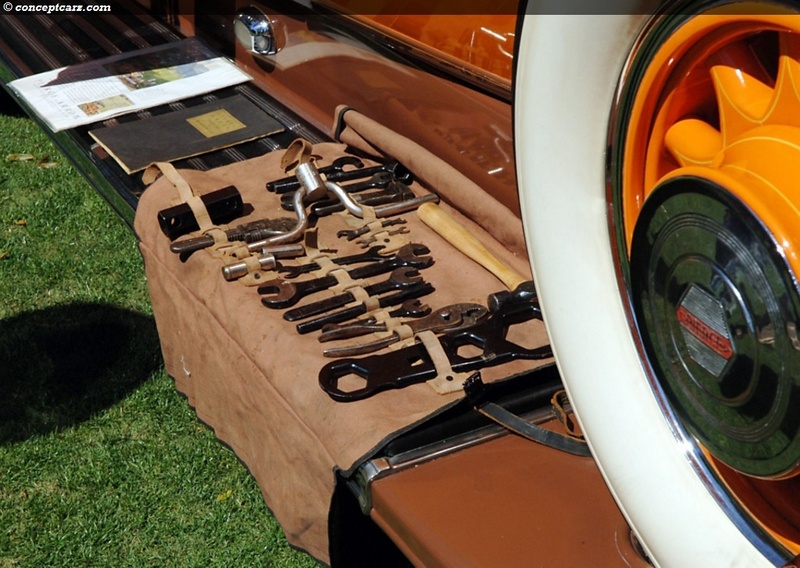 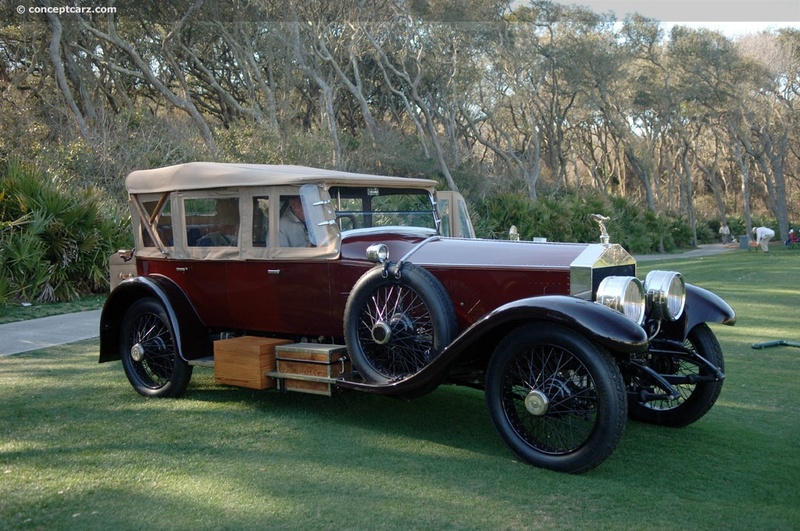 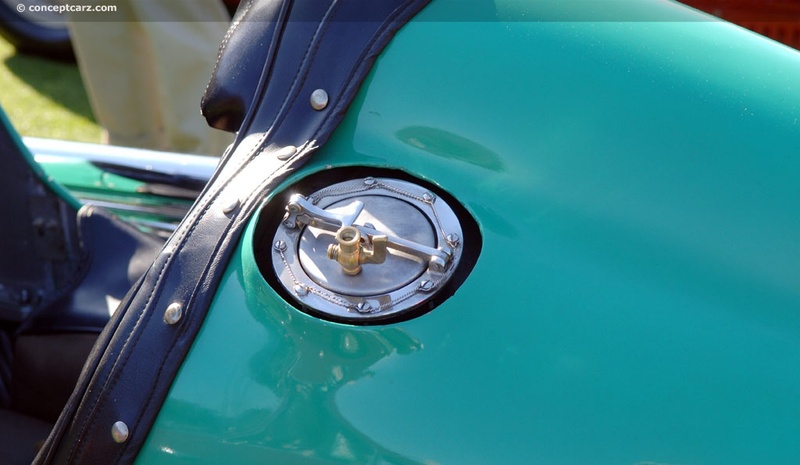 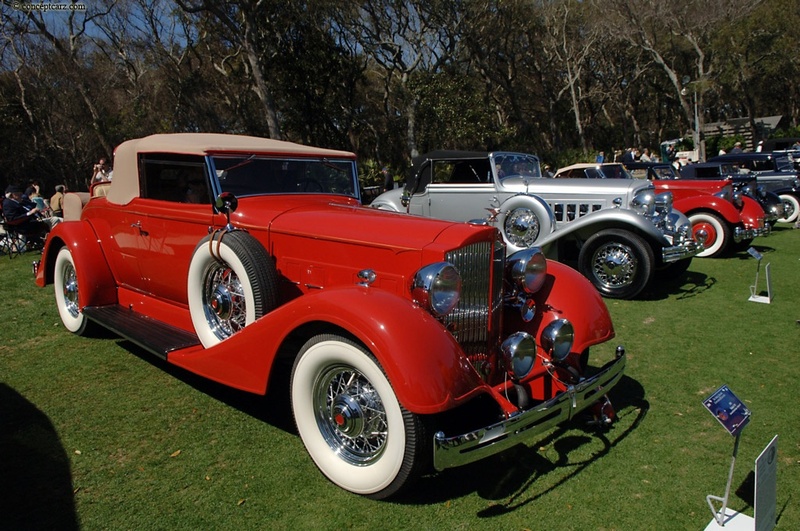 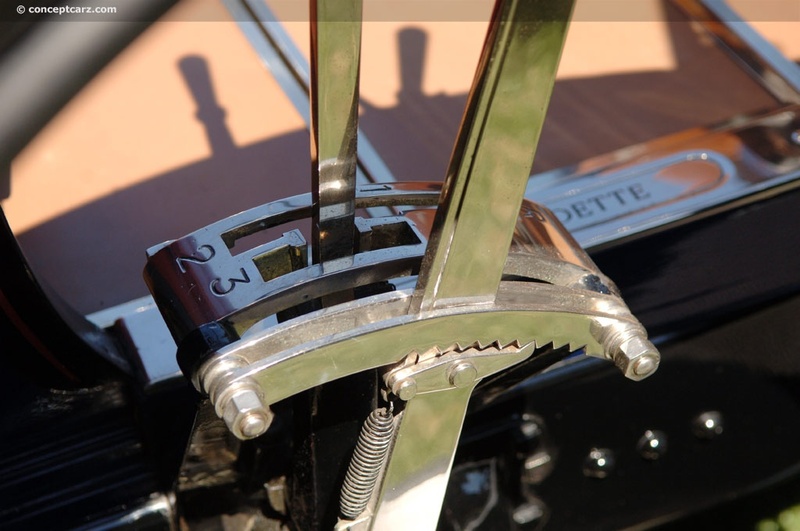 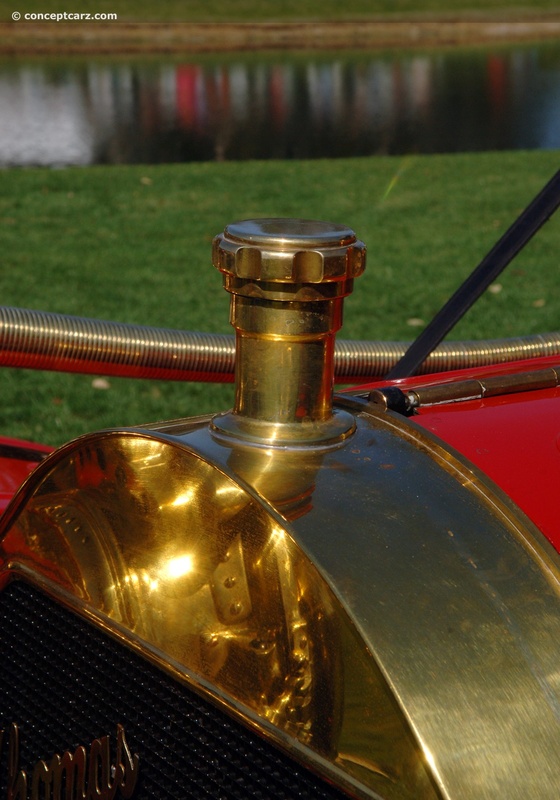 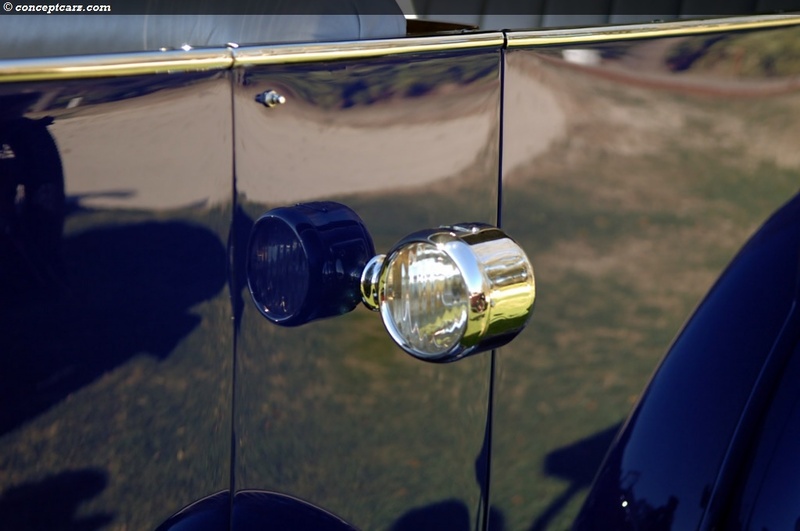 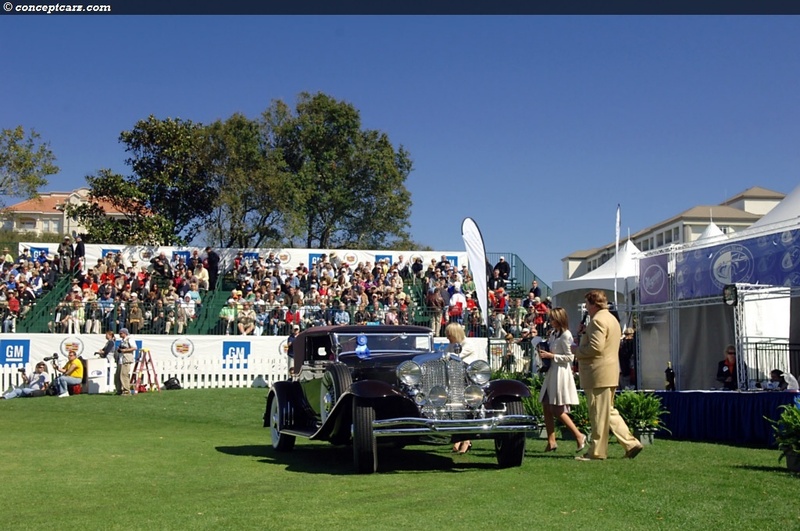 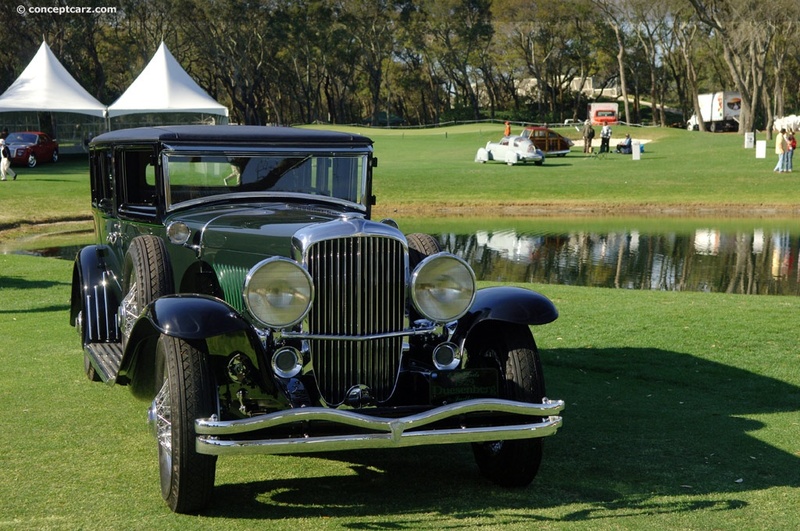 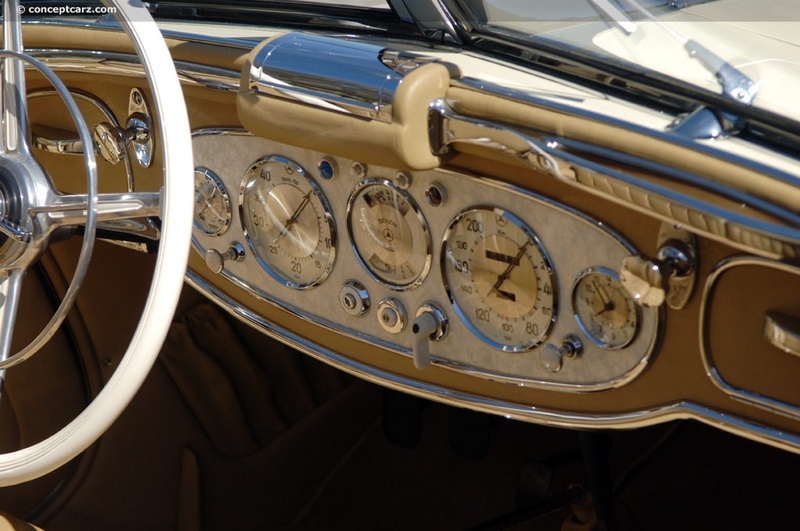 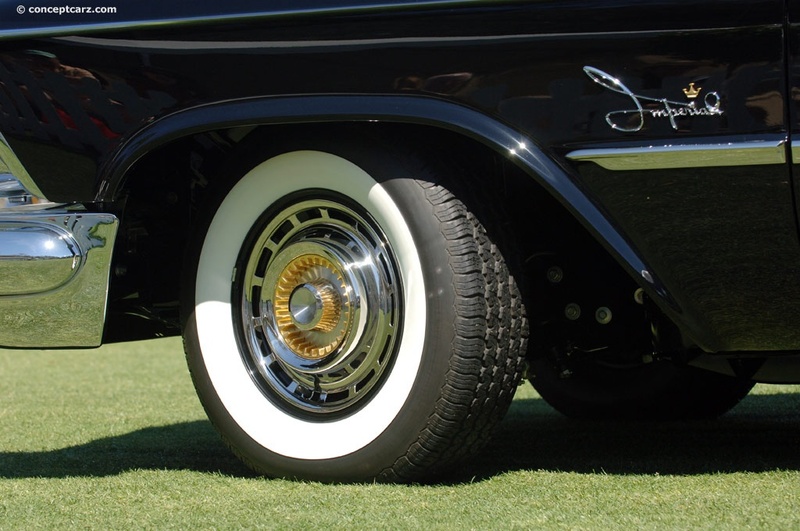 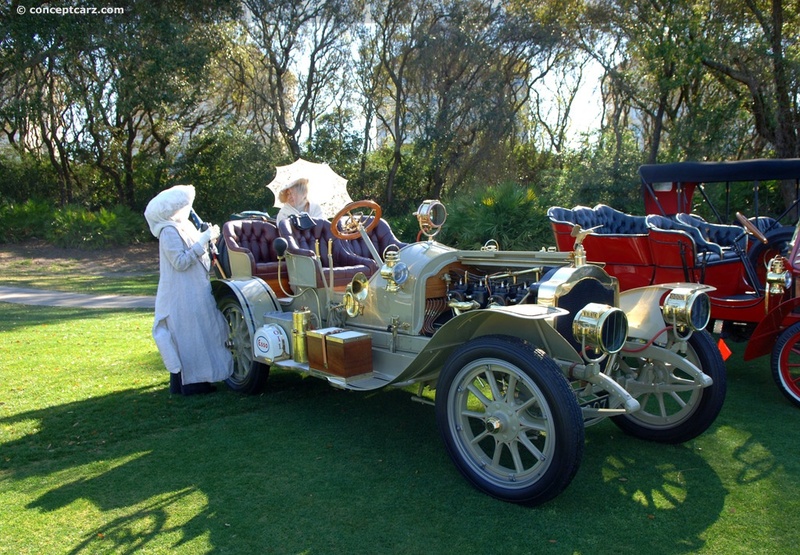 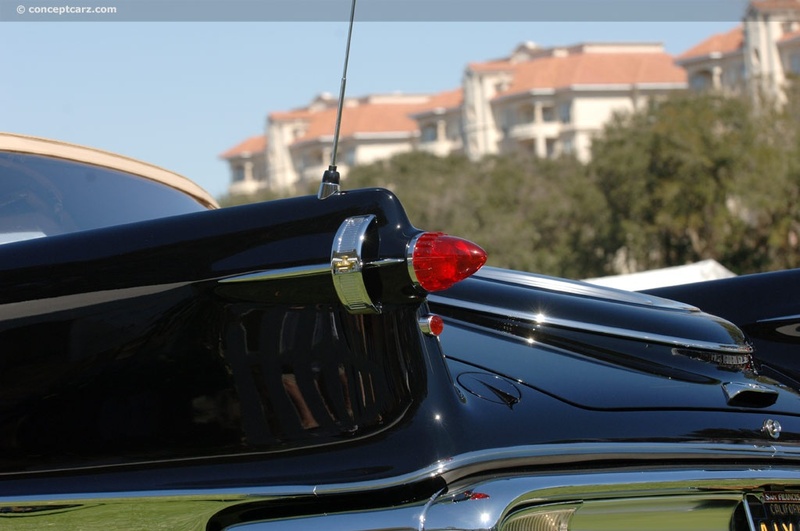 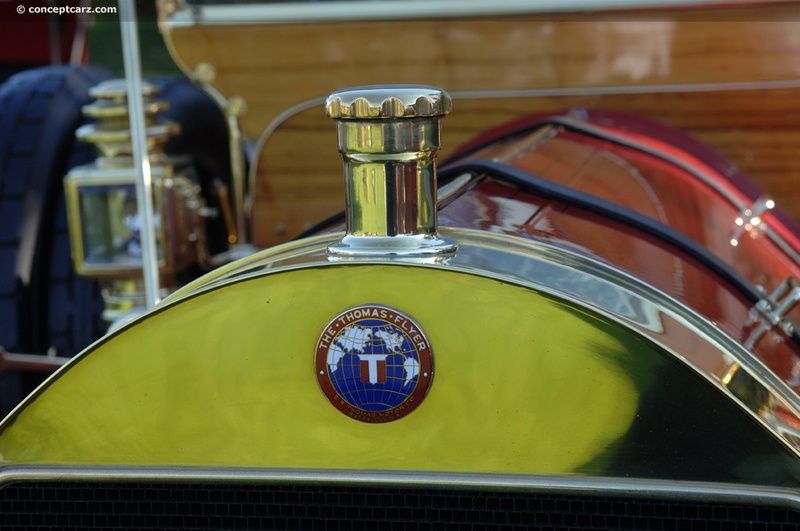 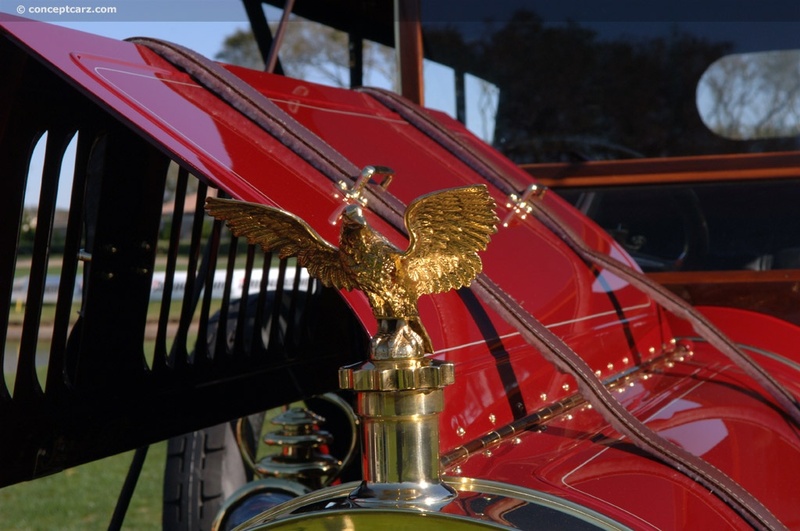 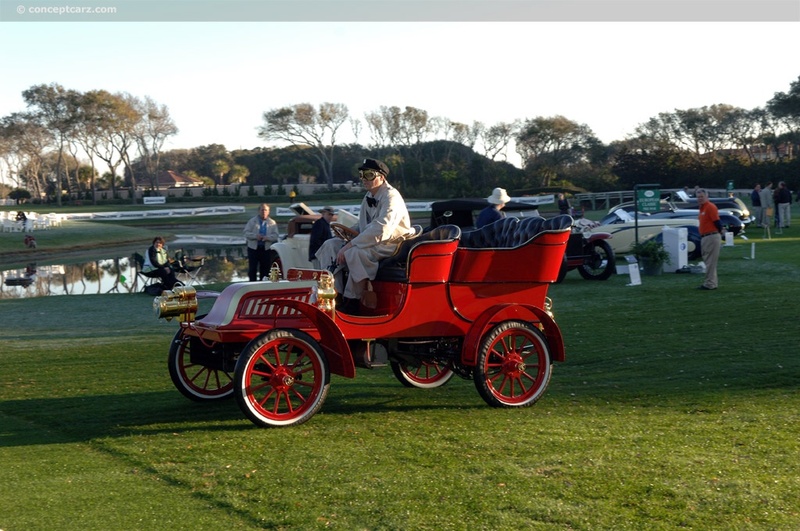 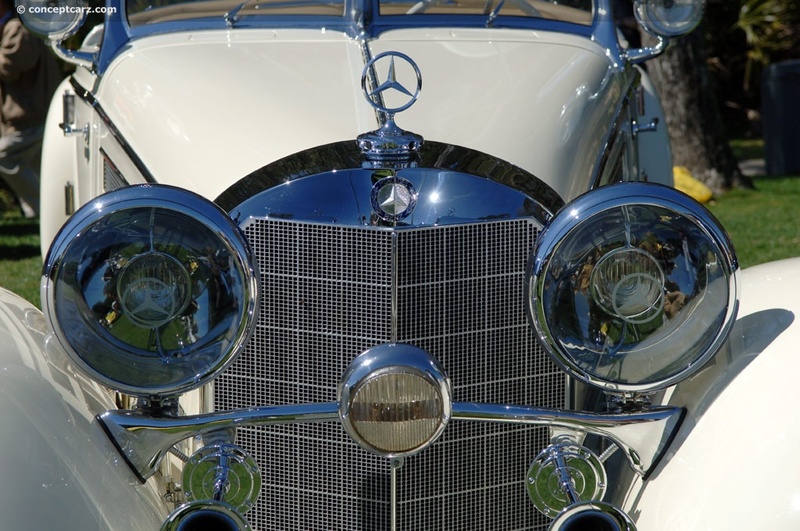 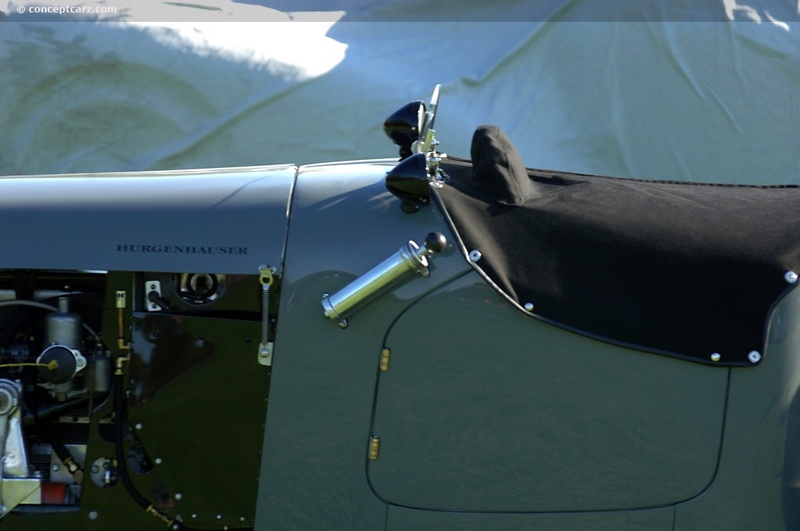 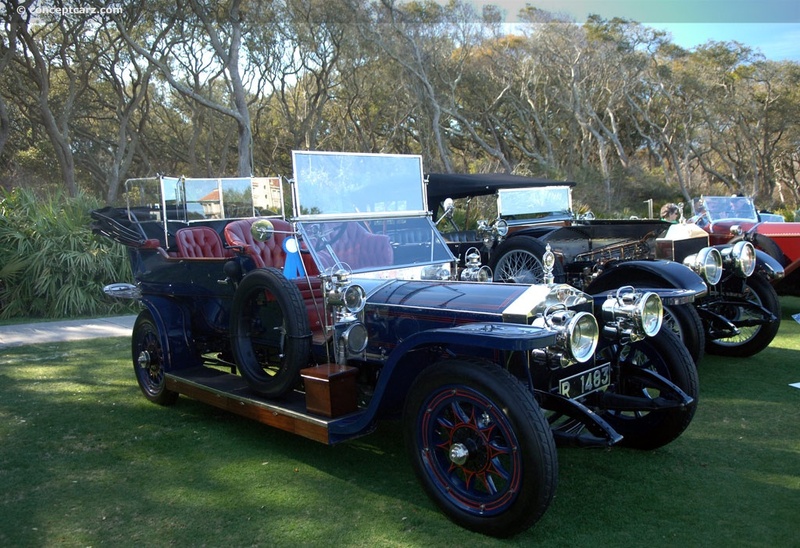 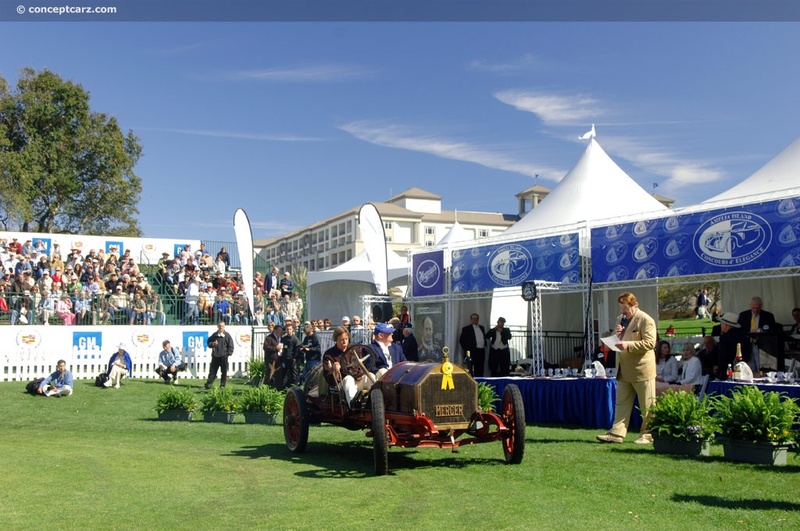 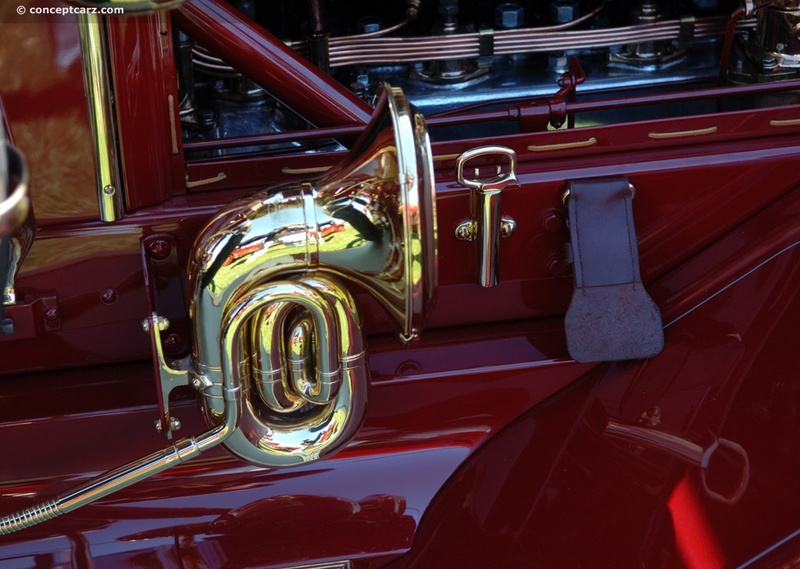 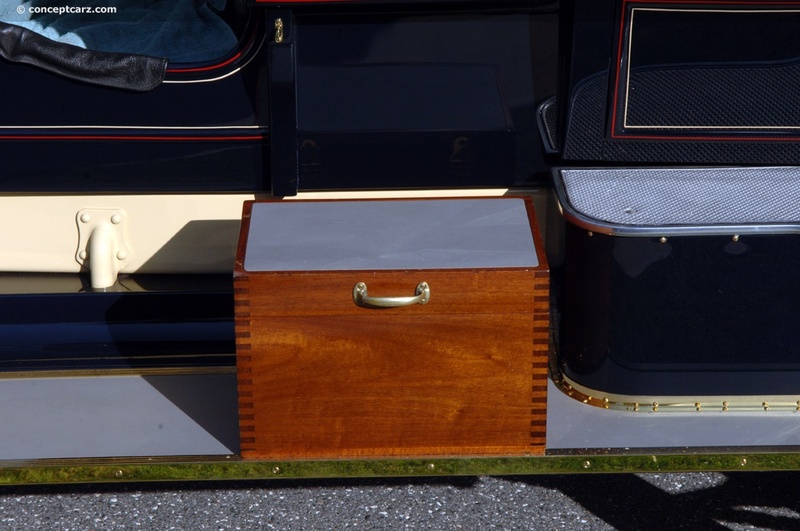 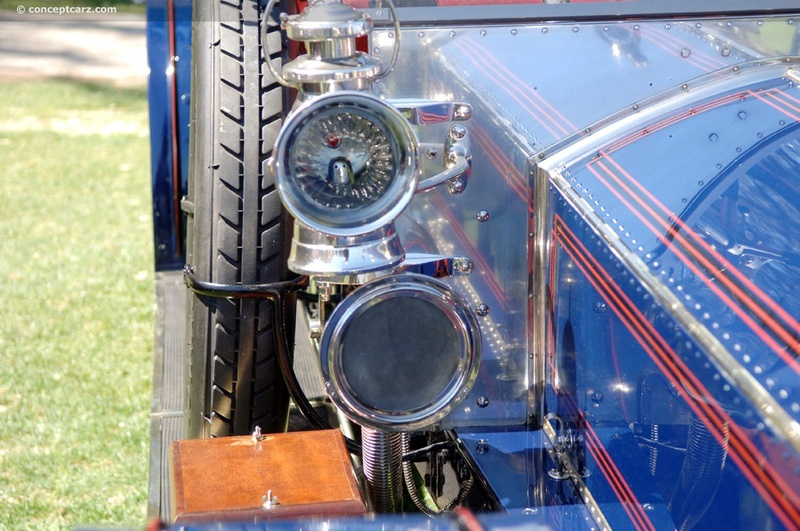 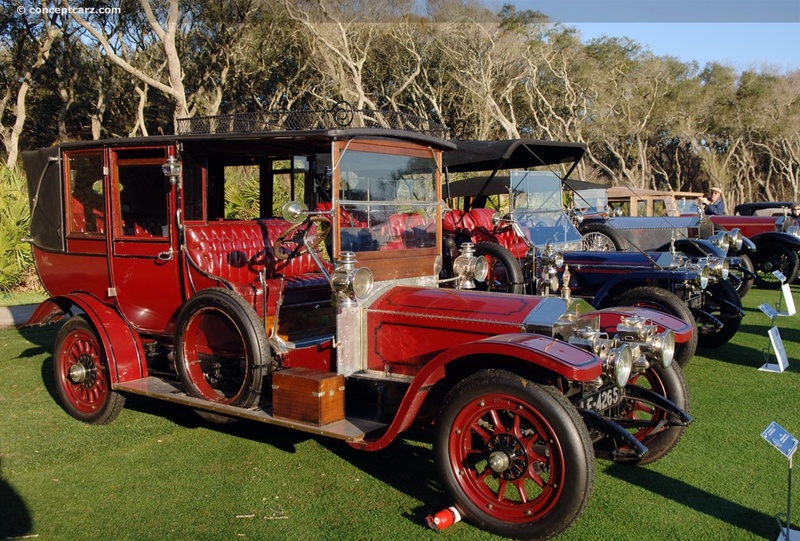 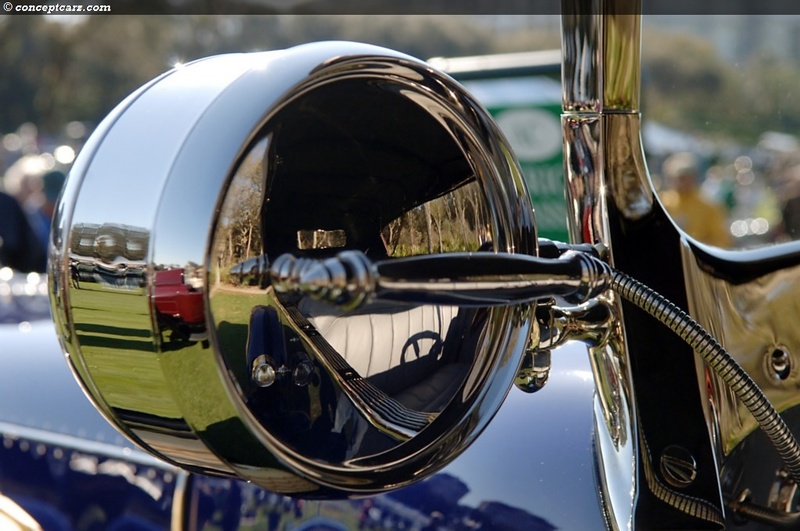 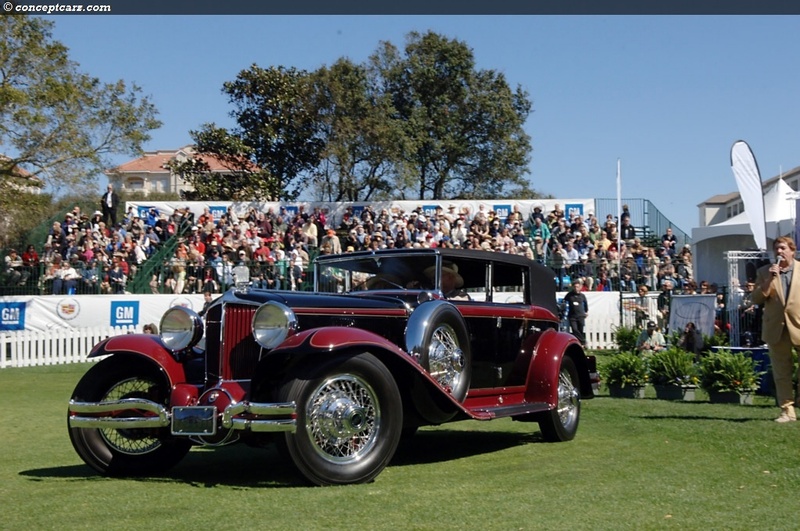 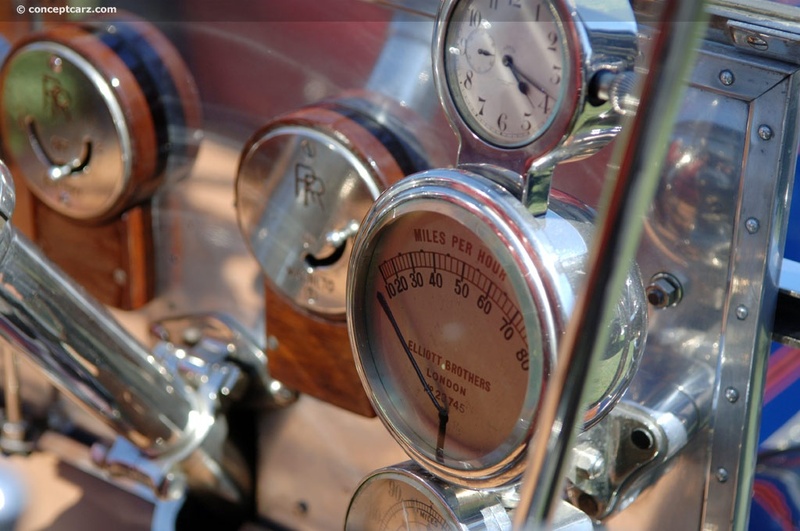 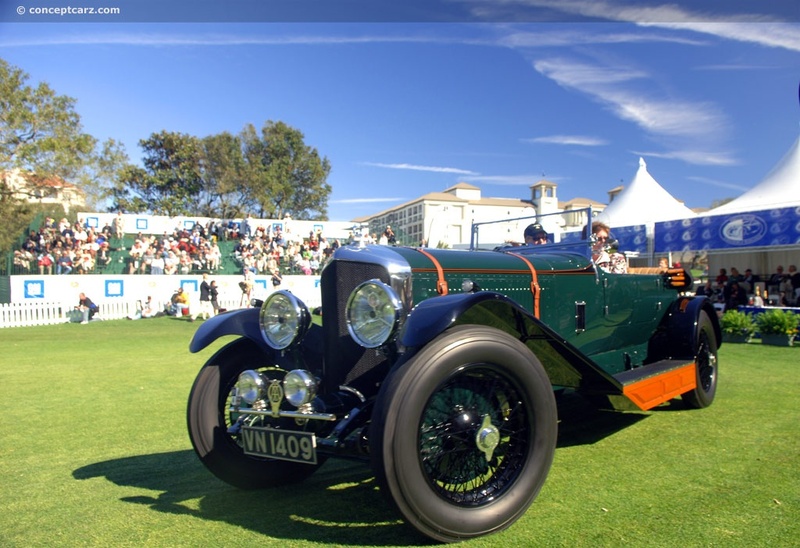 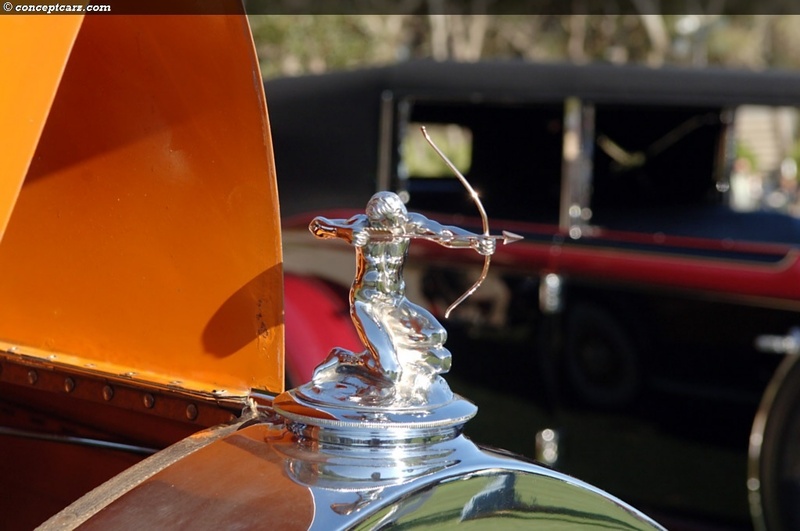 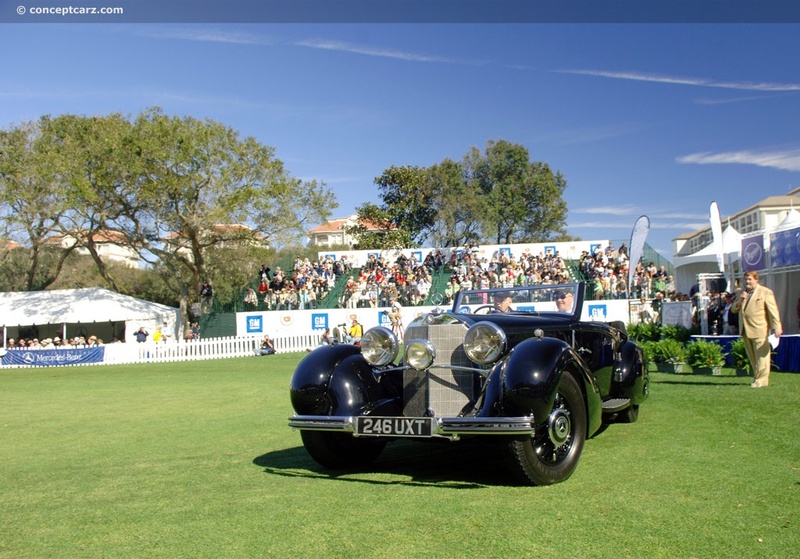 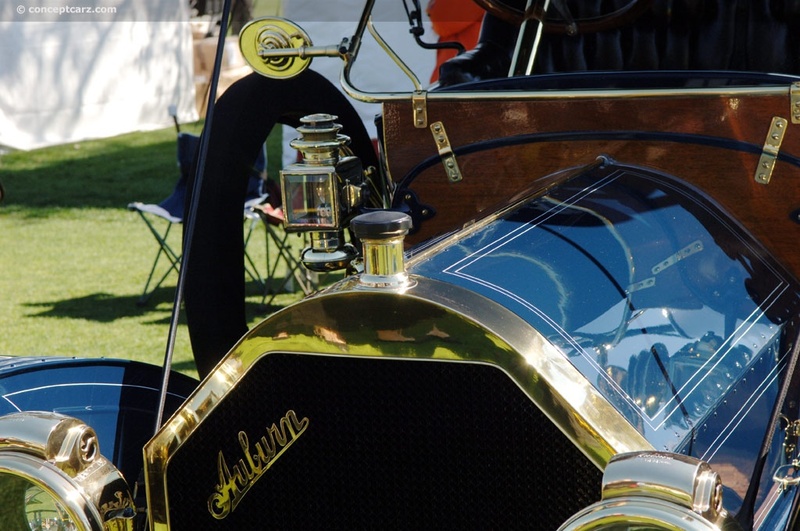 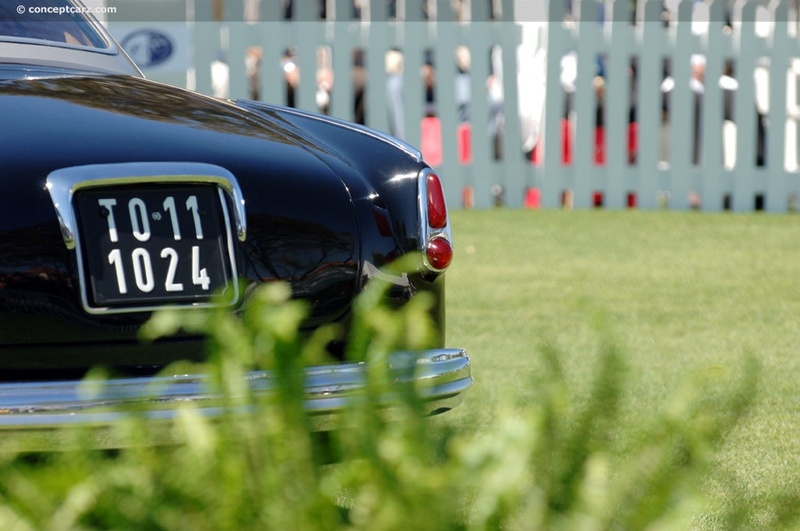 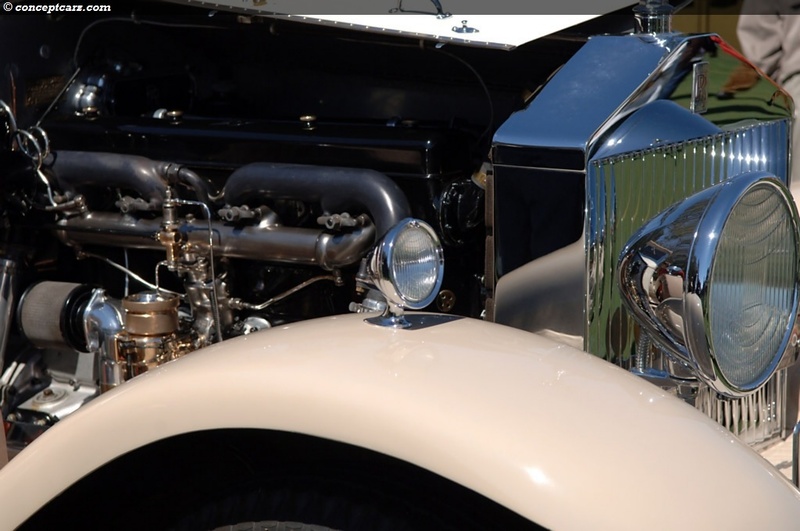 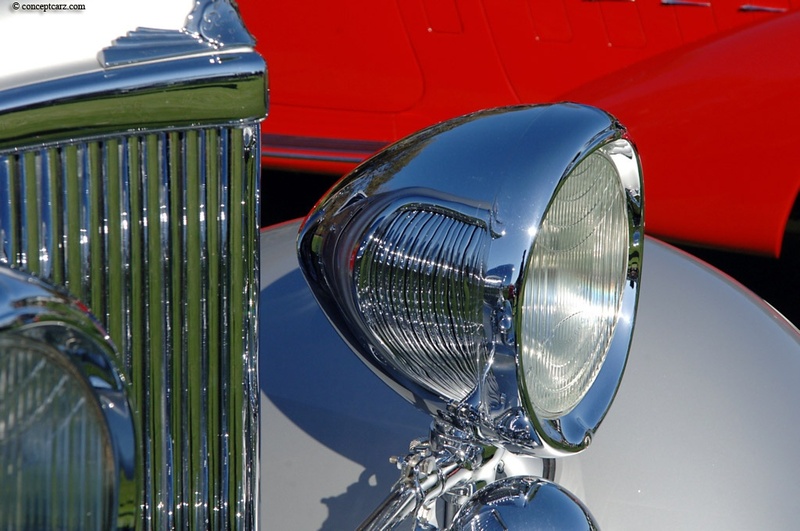 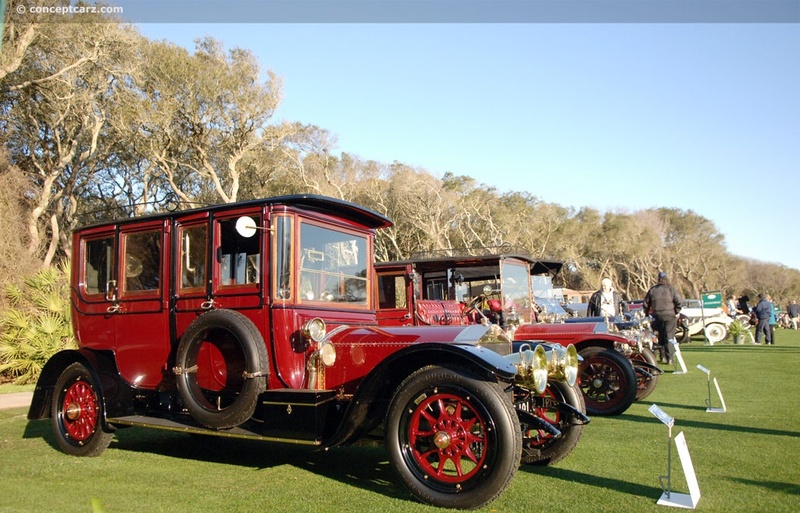 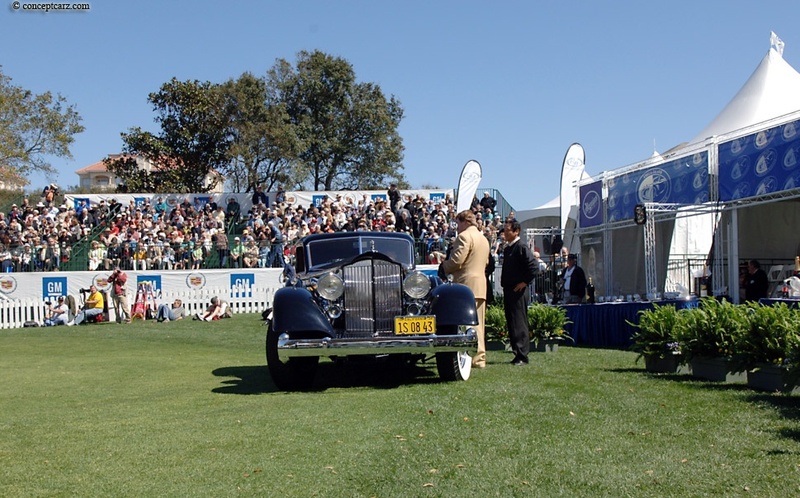 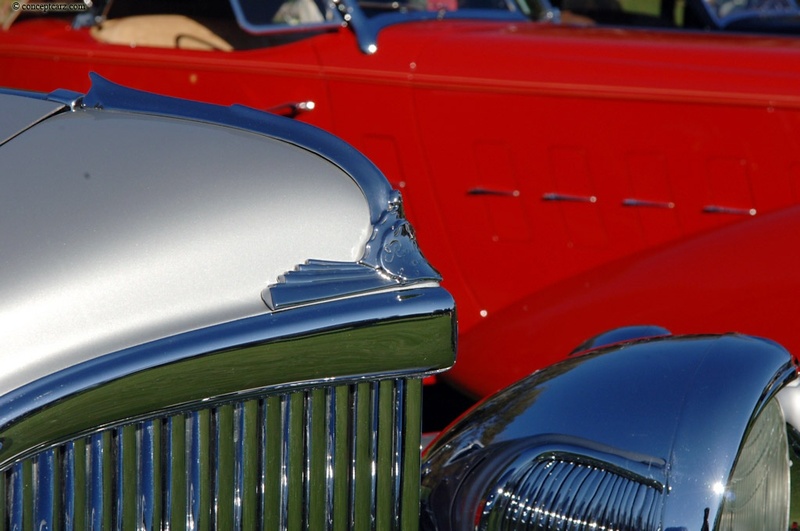 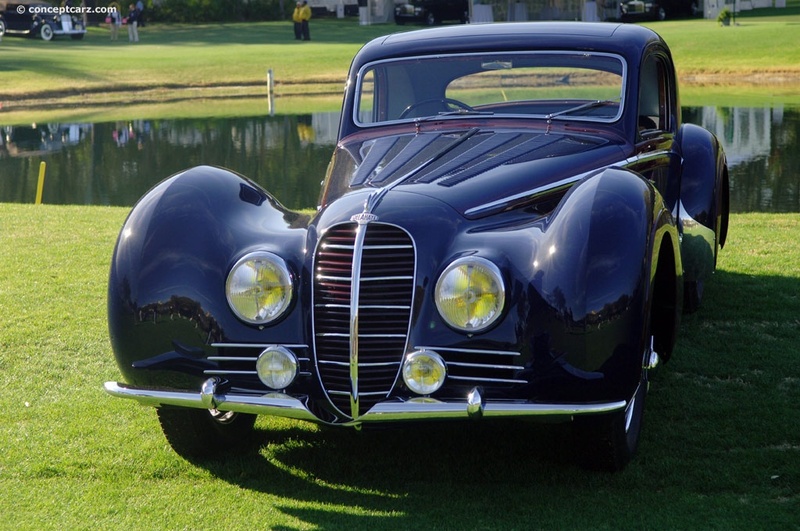 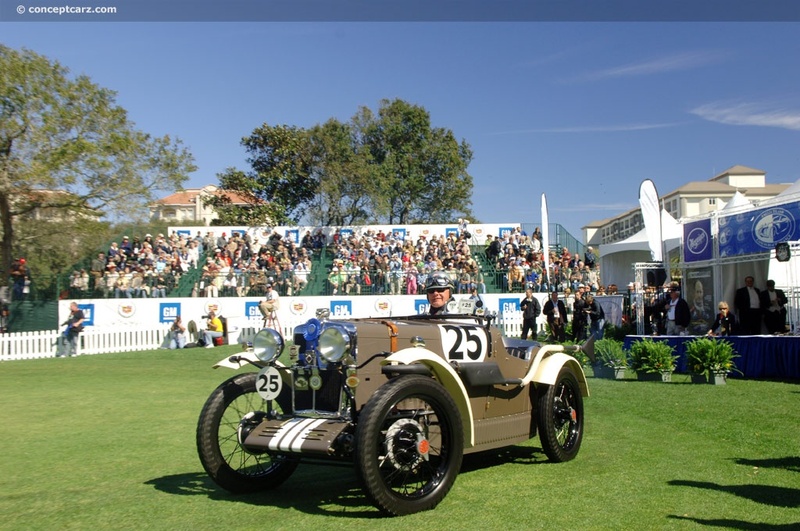 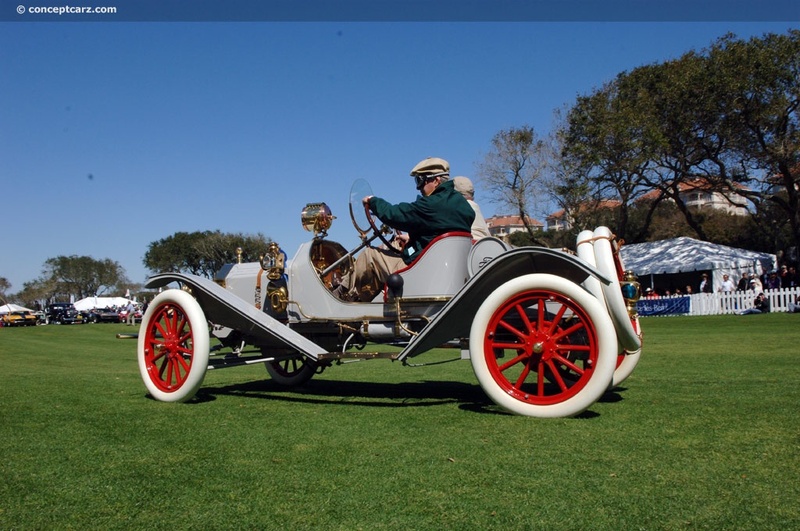 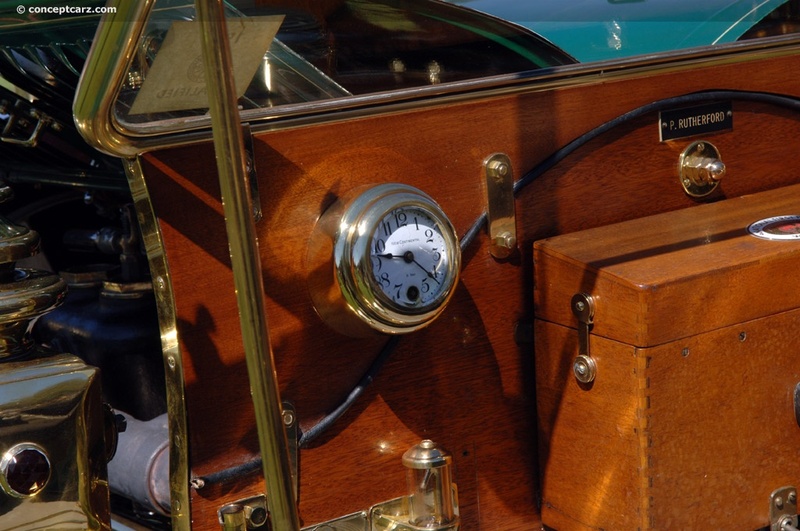 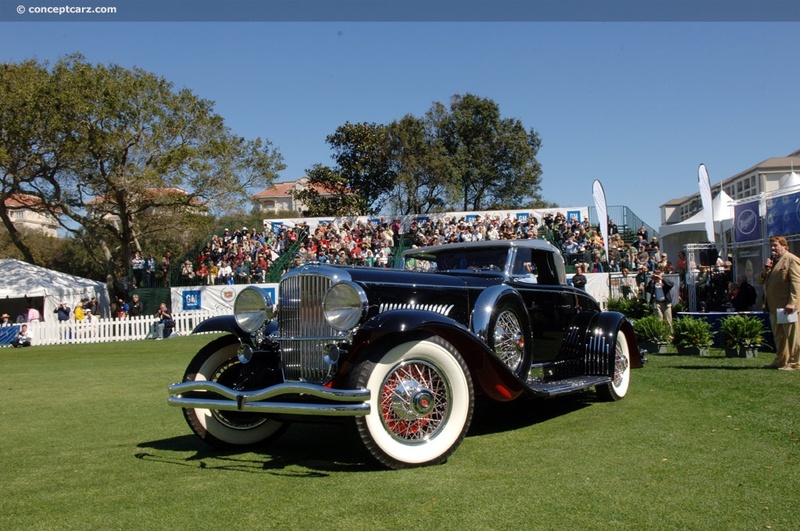 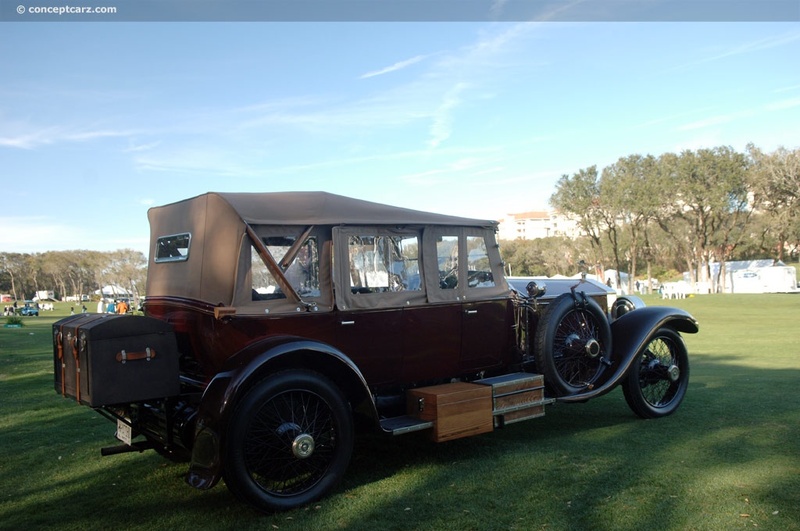 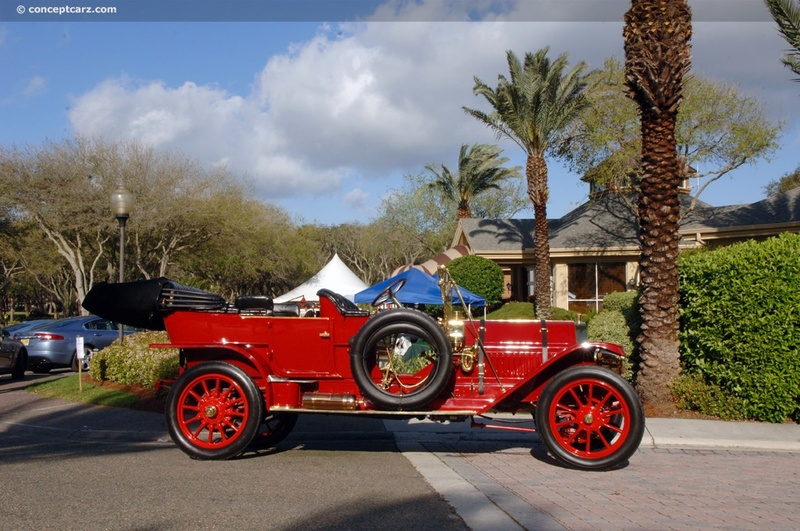 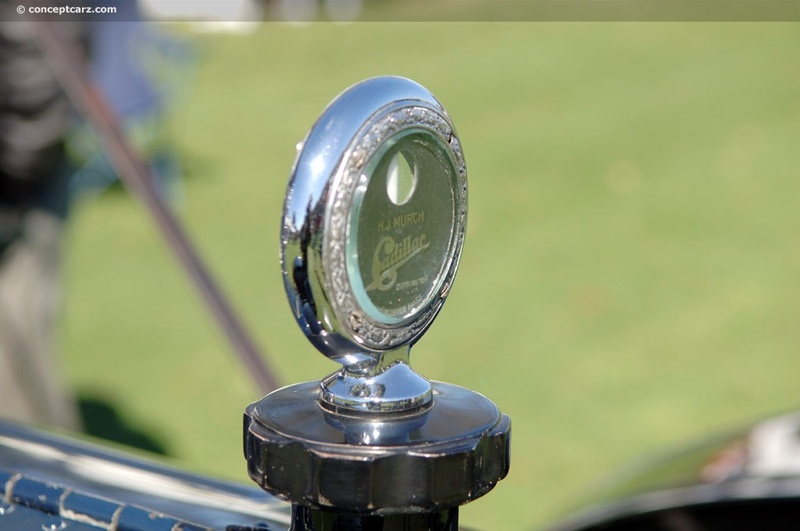 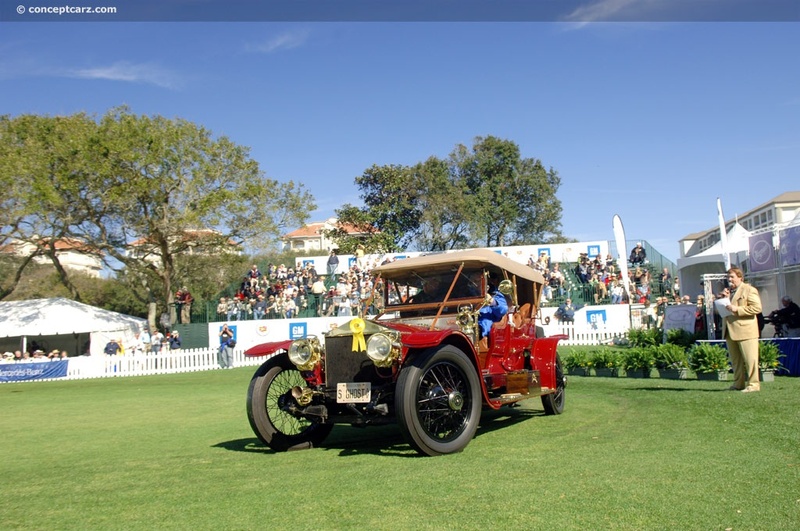 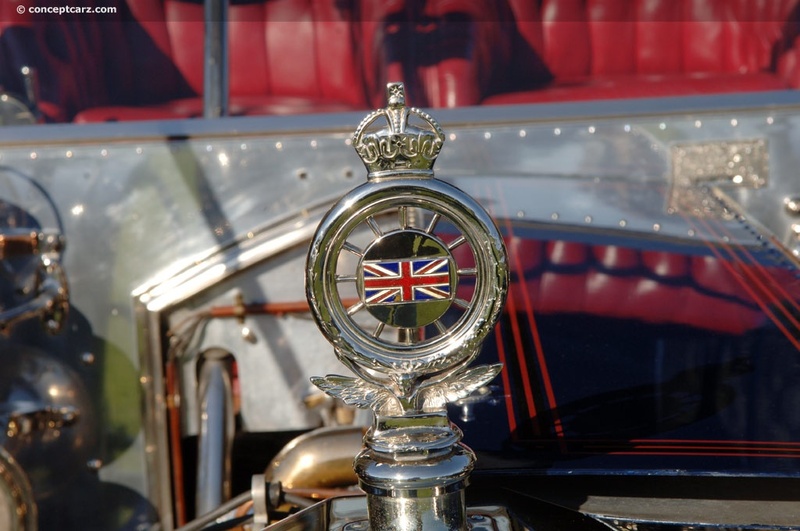 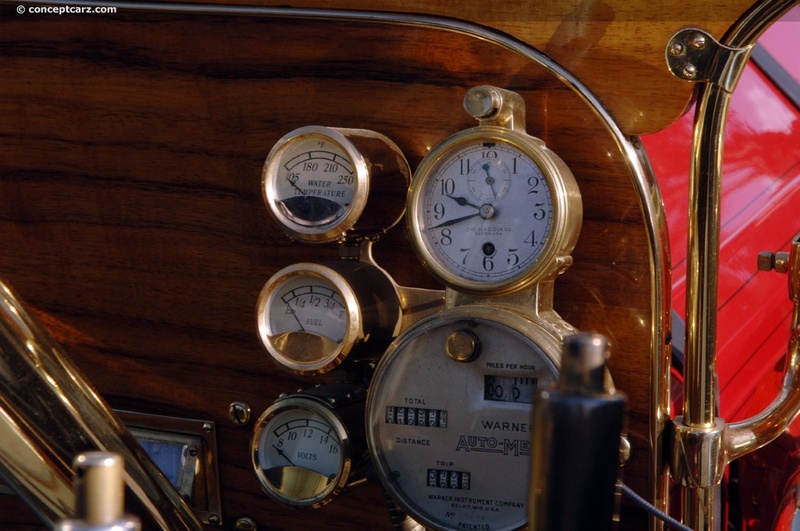 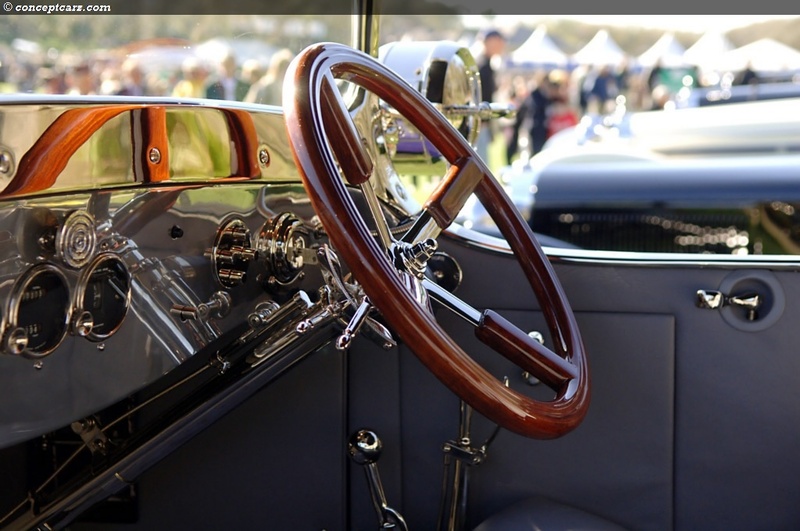 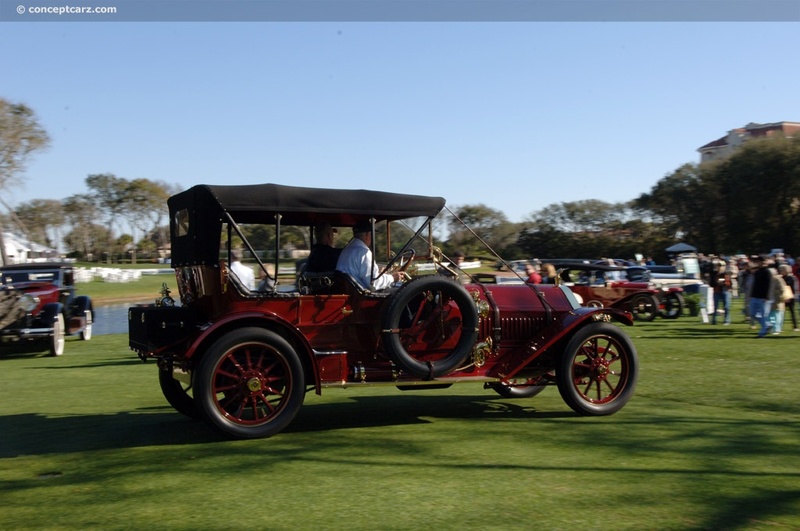 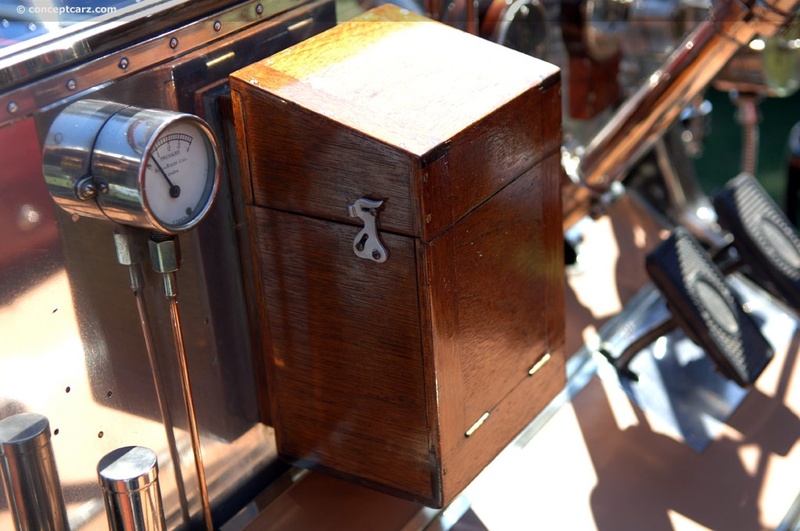 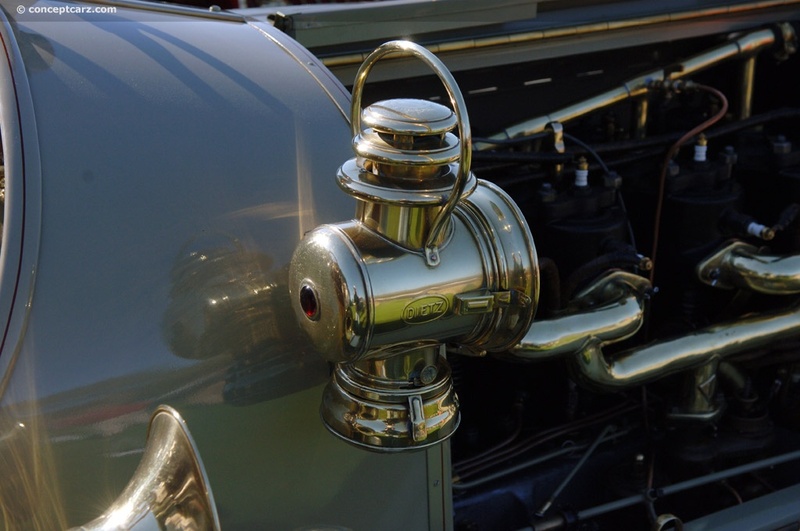 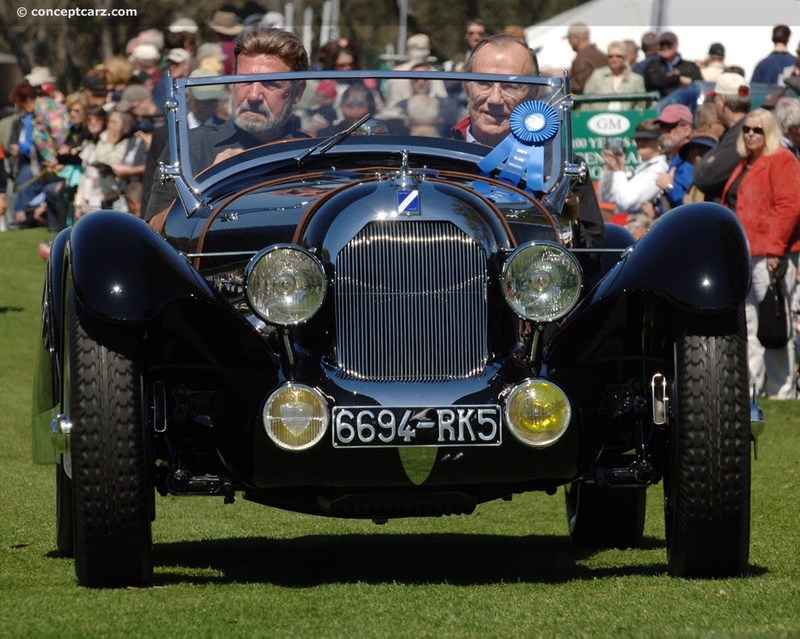 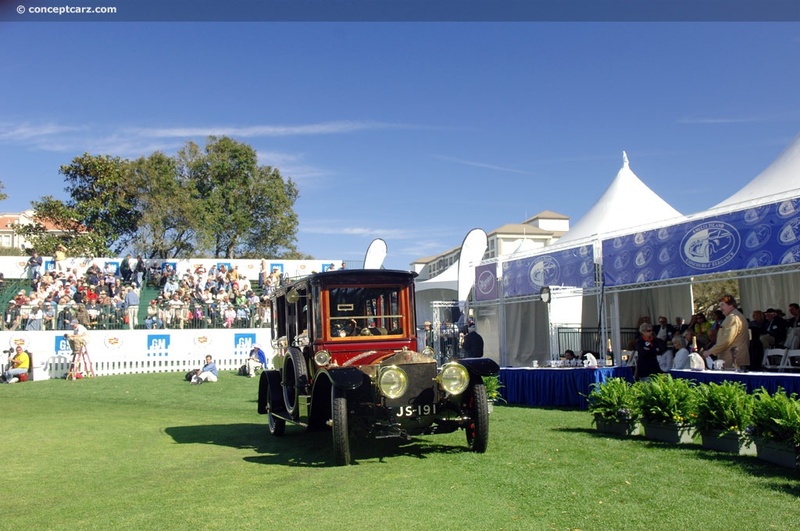 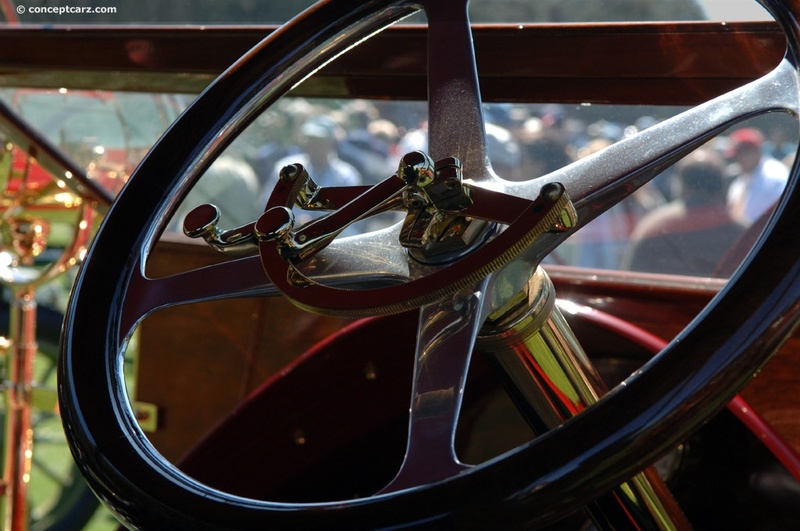 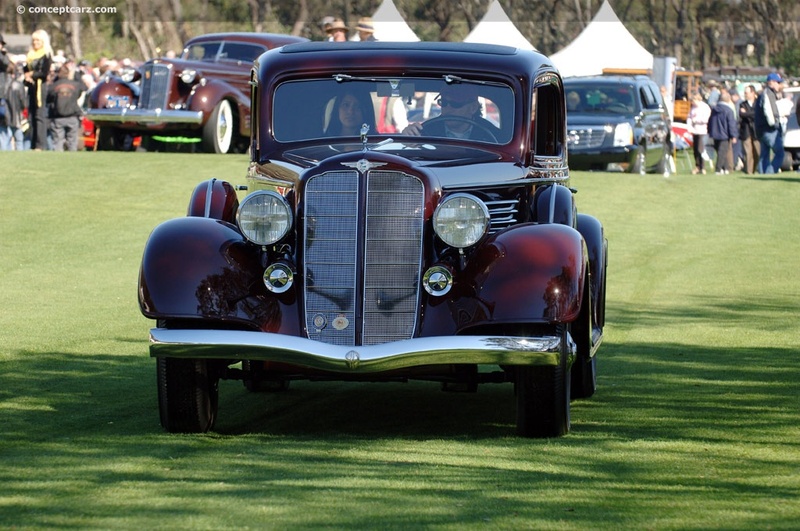 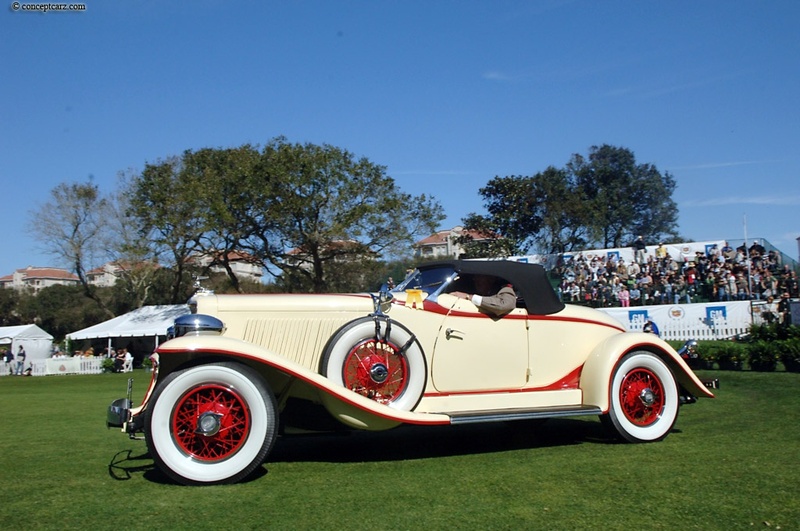 Concours d'Elegances, meaning 'Parade of Excellence', is a lineup of special events that often feature the most exquisite automobiles ever created. 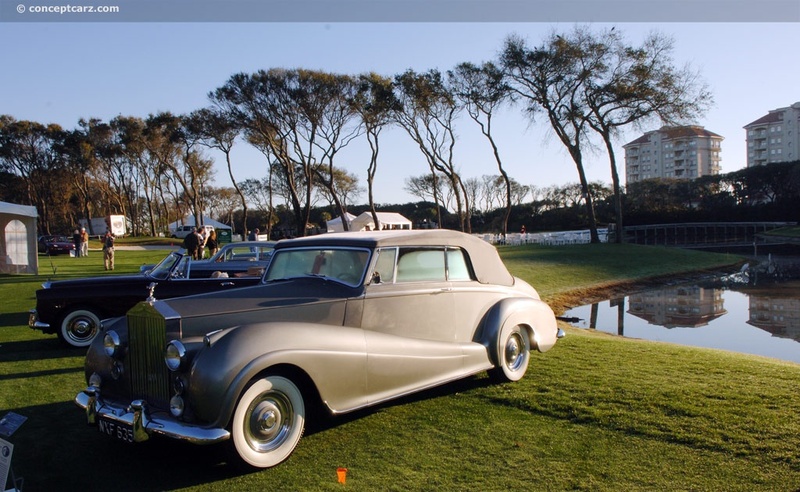 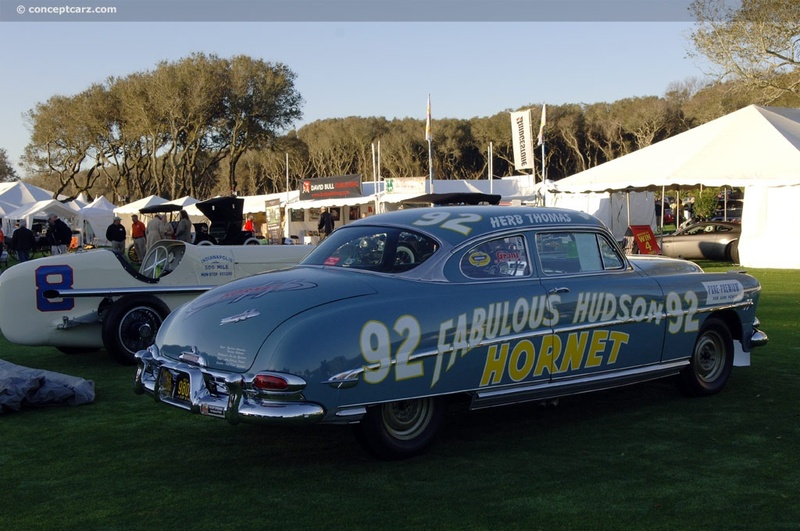 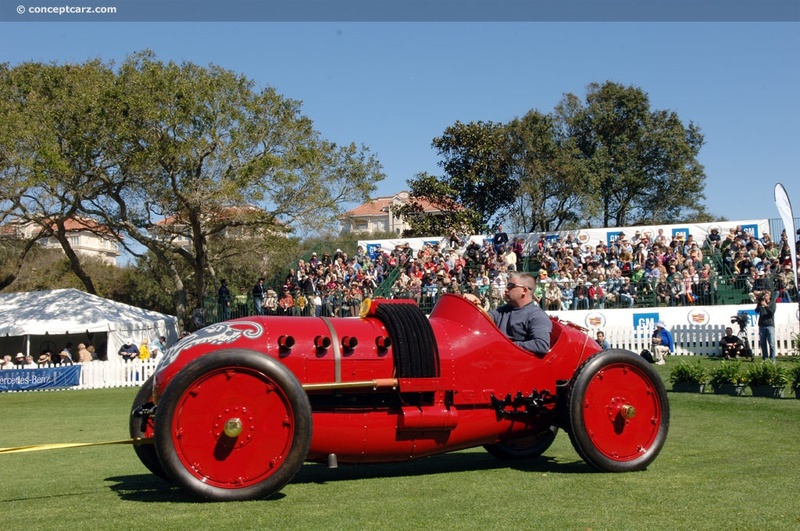 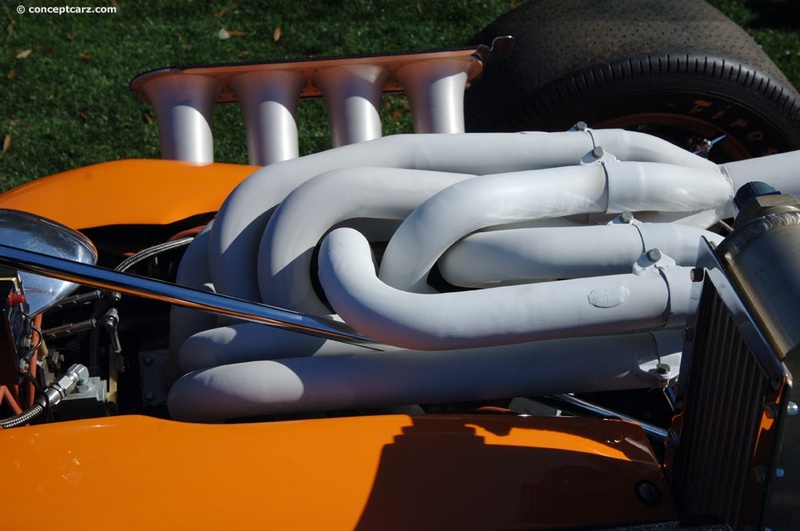 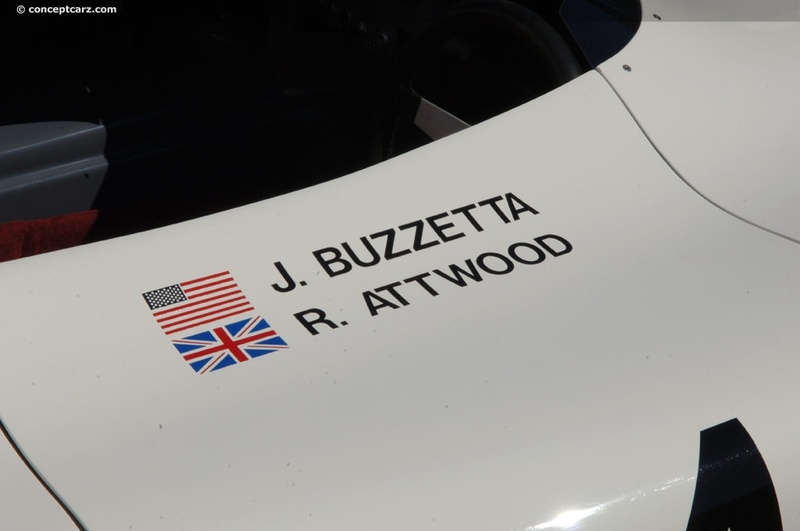 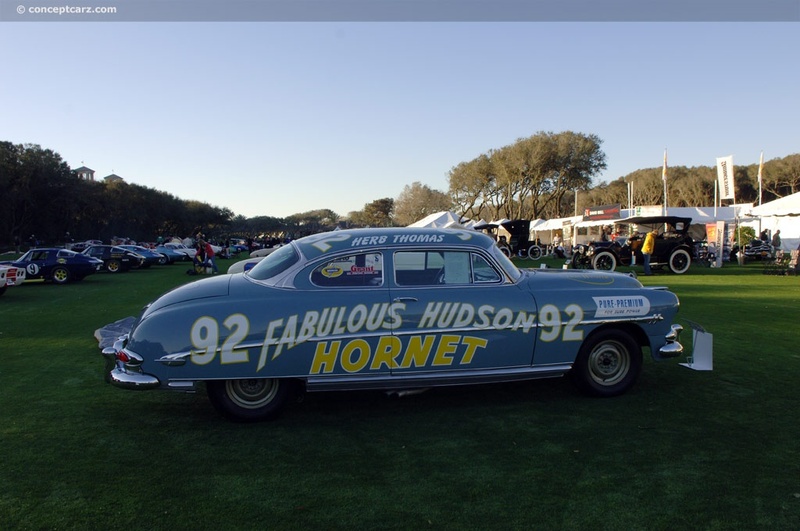 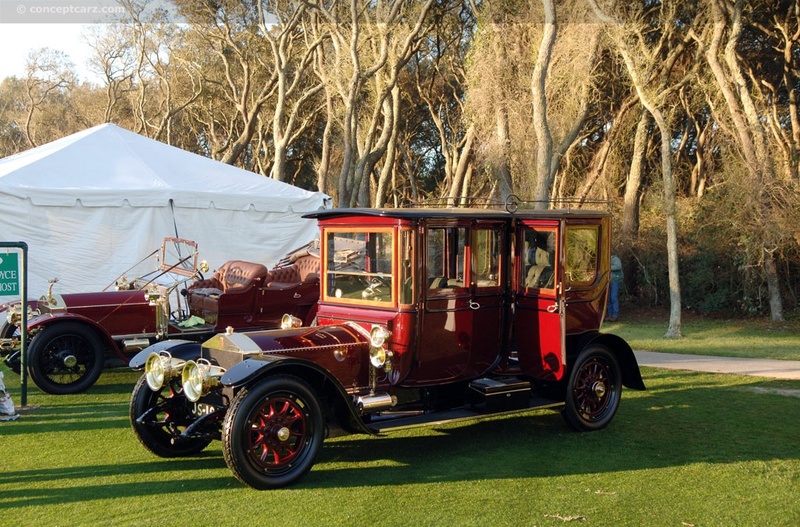 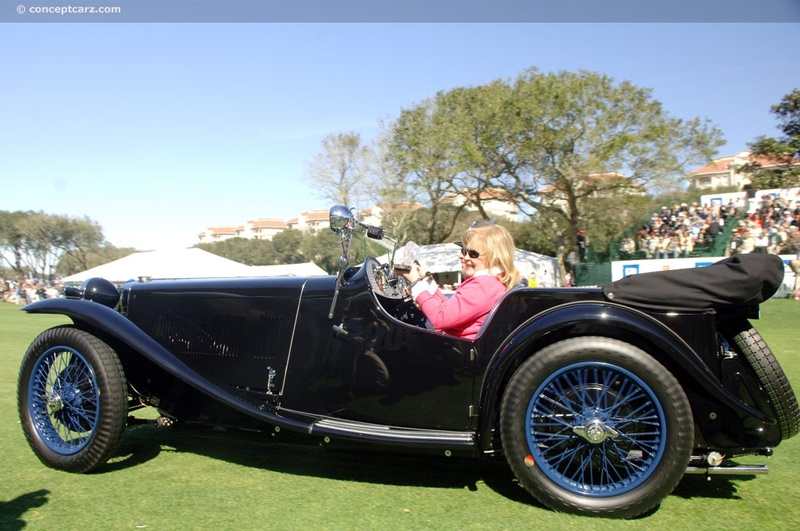 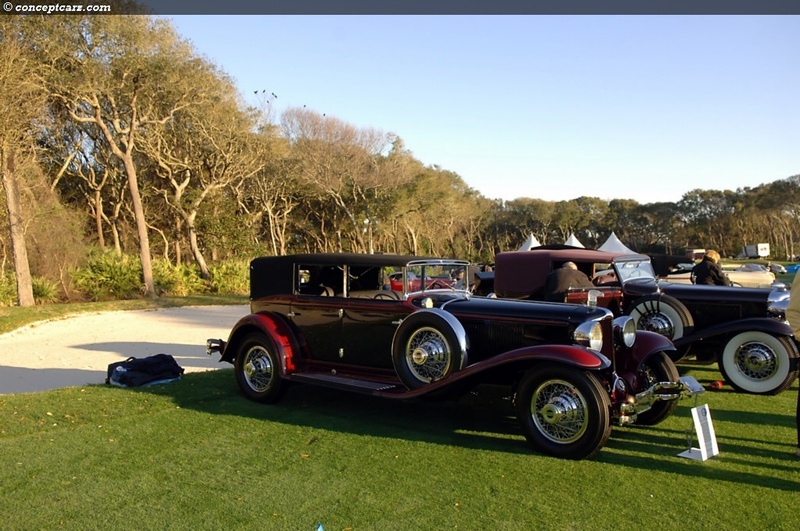 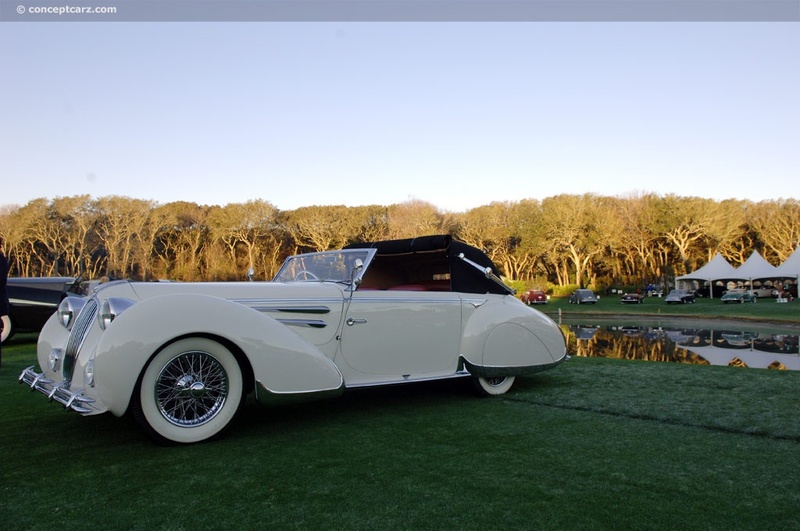 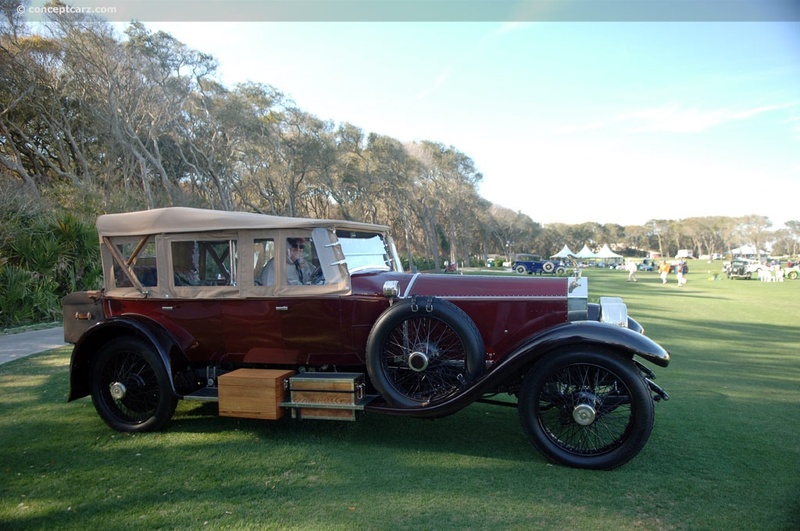 This year's Amelia Island Concours d'Elegance had a different scene than one would expect; it began with a sound more fitting for a race track than a high-class event. 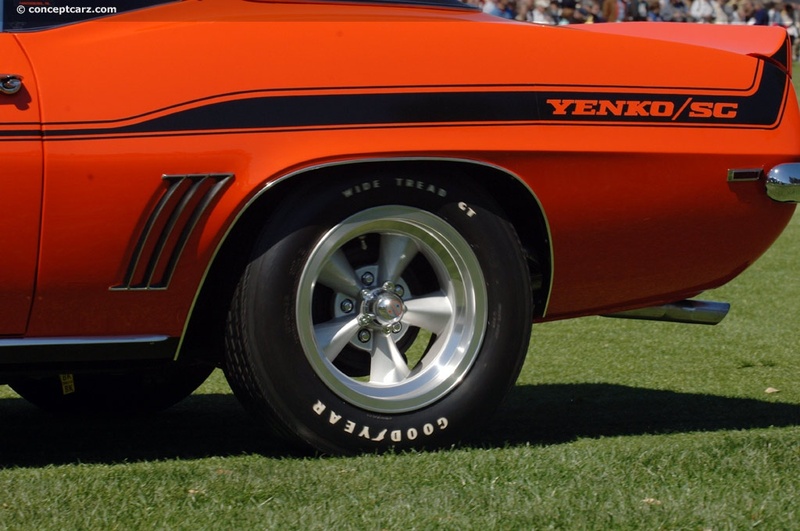 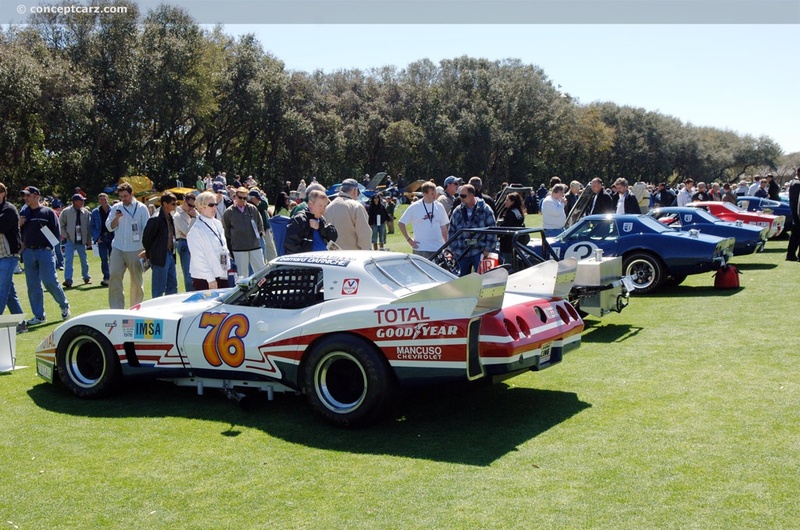 Approximately forty Trans-Am racers could be heard throughout the Concours weekend with their loud, ground shaking thunderous voice that was often followed by a ferocious roar and uncontrollable spinning of tires. 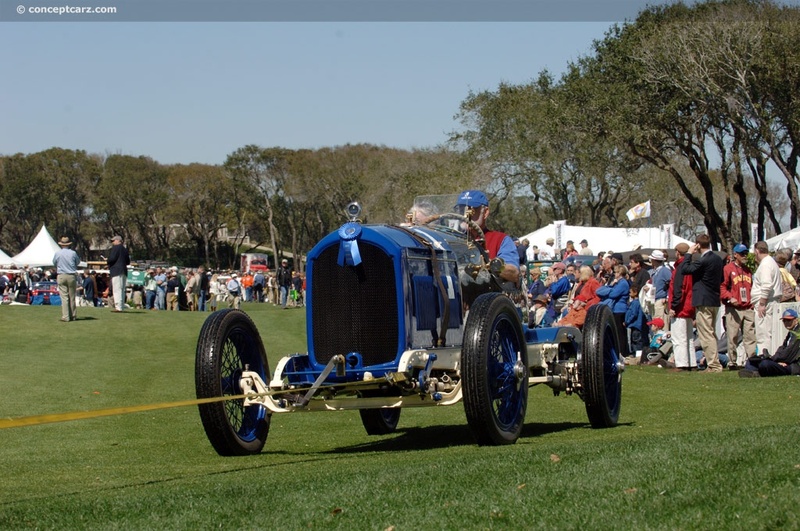 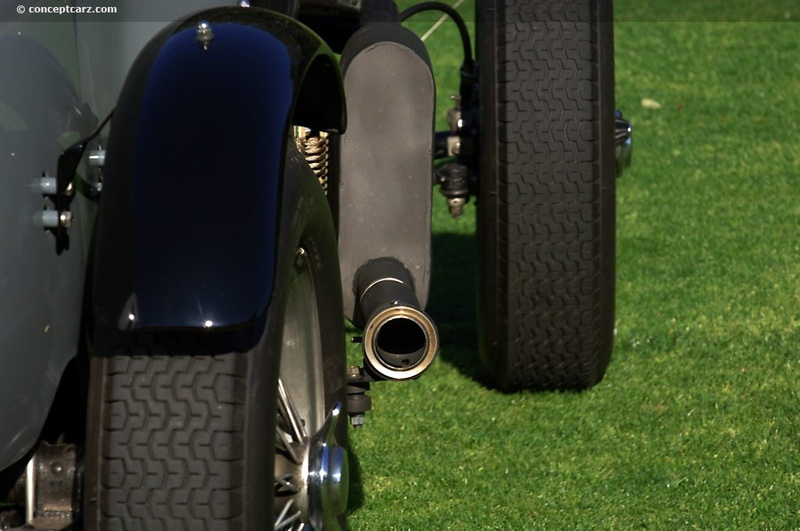 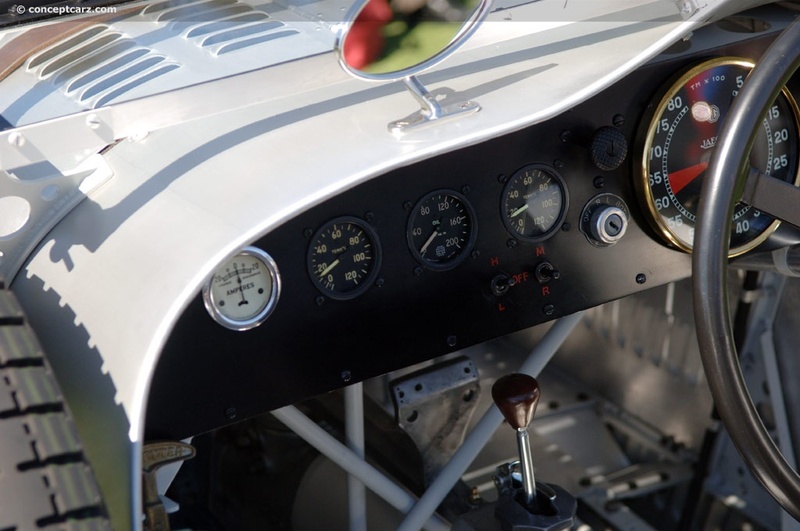 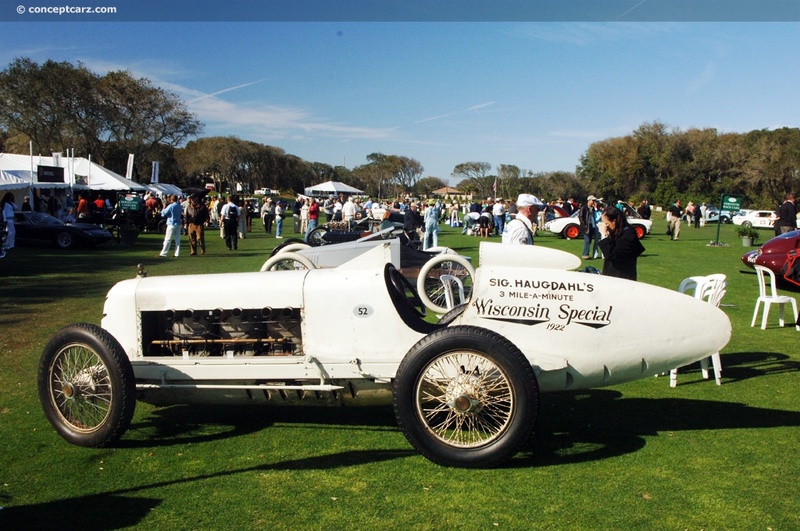 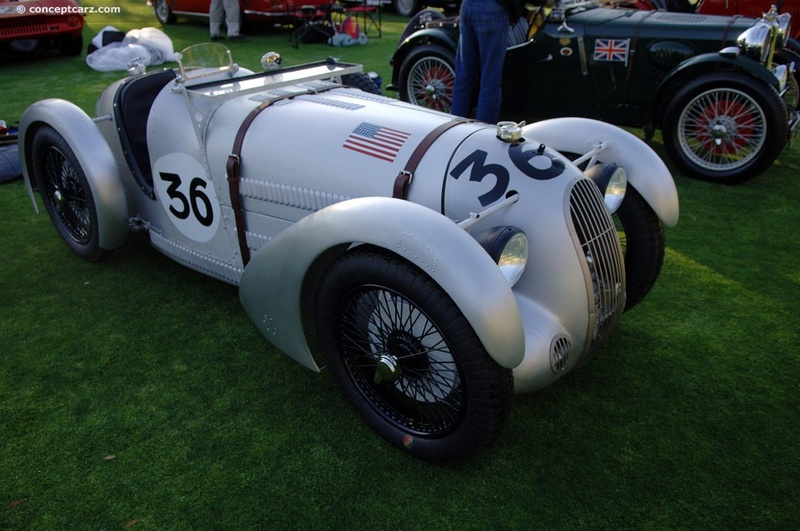 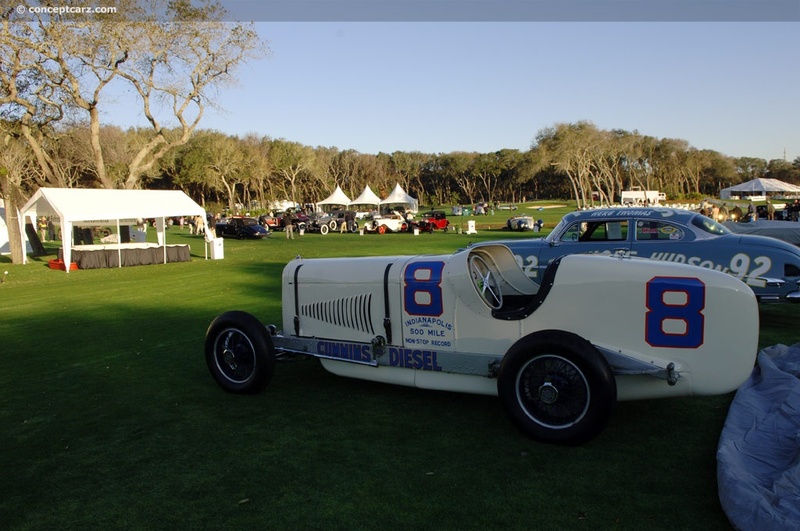 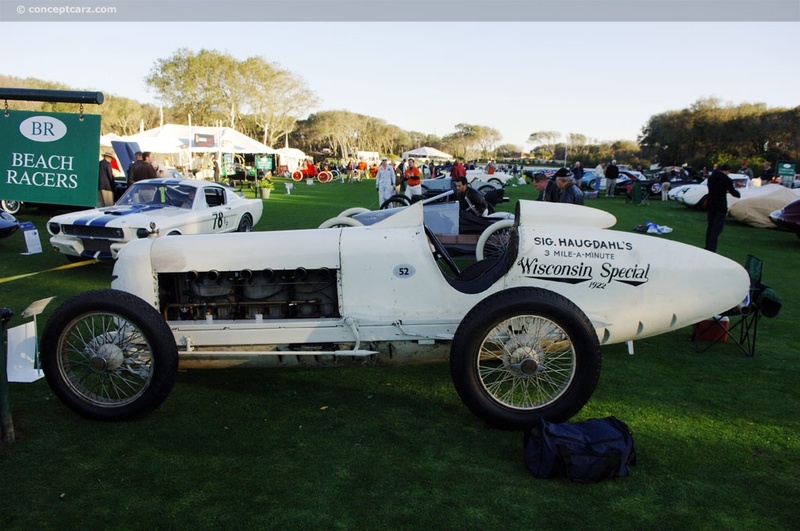 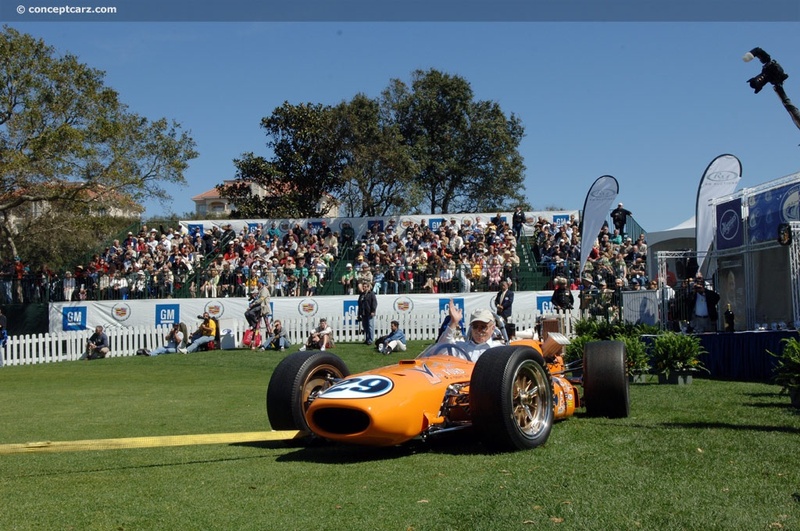 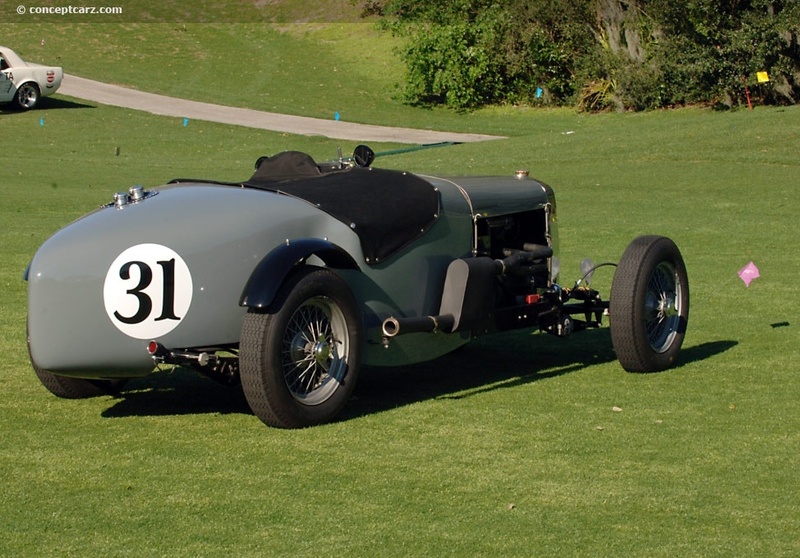 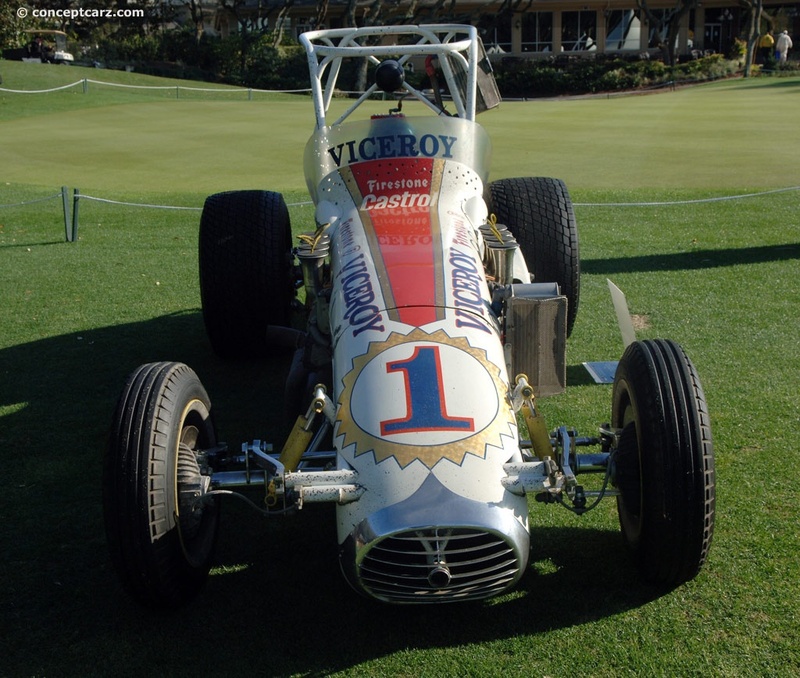 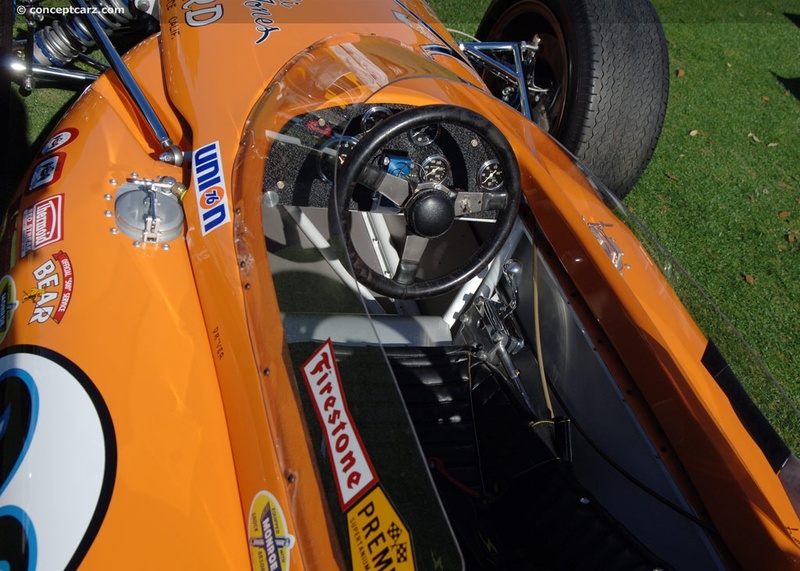 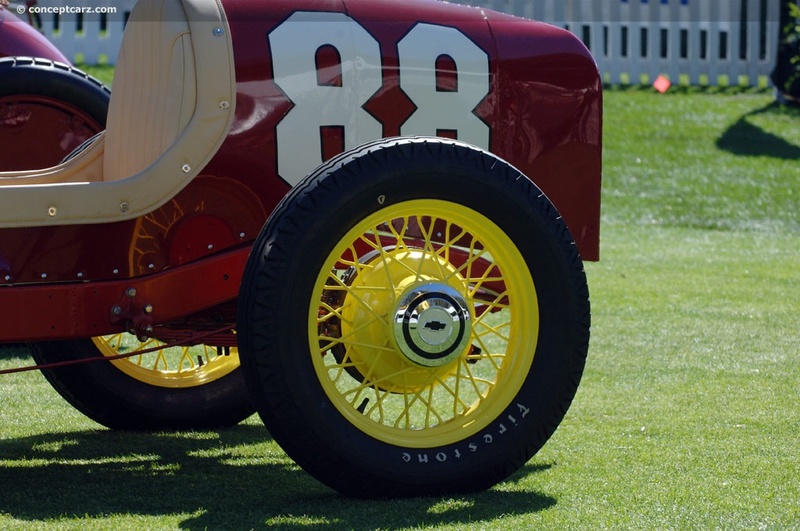 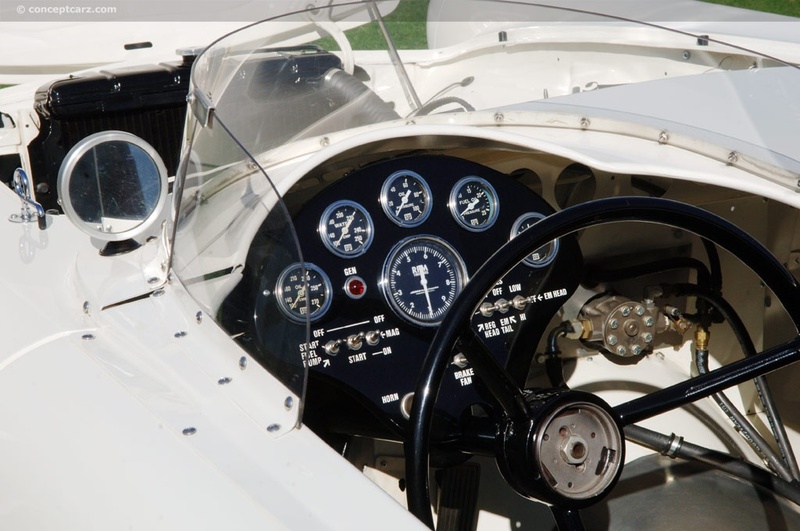 The Amelia Island Concours puts a strong emphasis on honoring the legends of racing and the cars that chased the checkered flag. 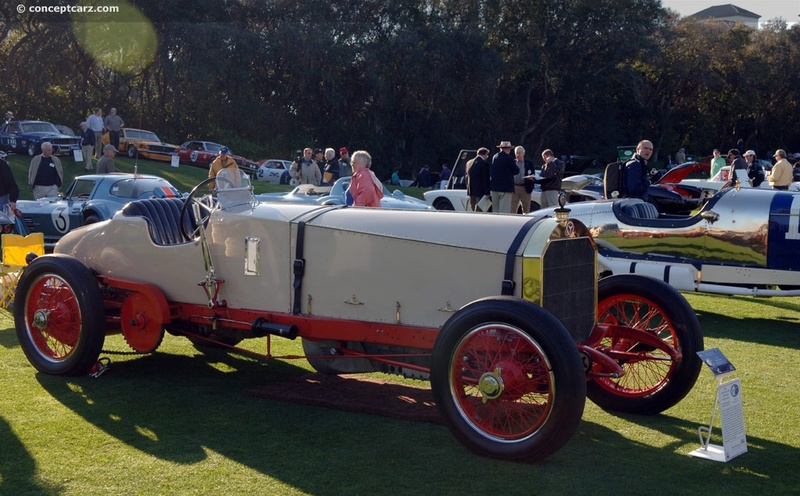 This year, there were probably more cars that had a racing pedigree or been designed for sporty driving, then were the antique, luxury, and classic cars. 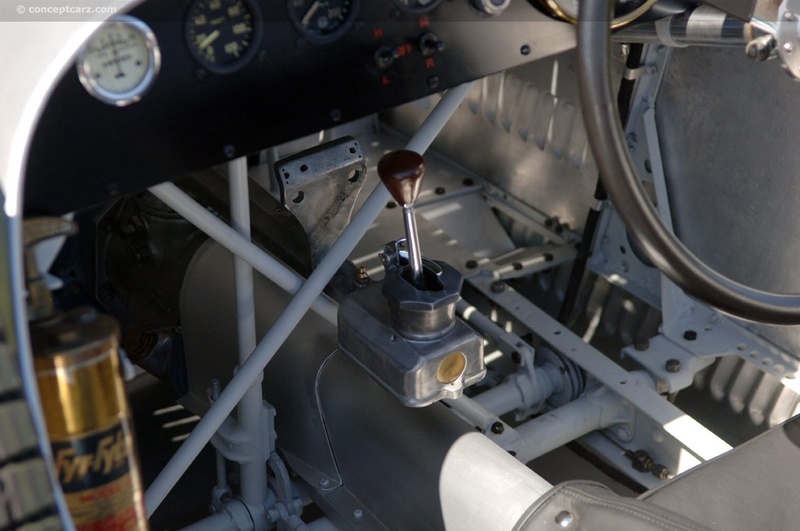 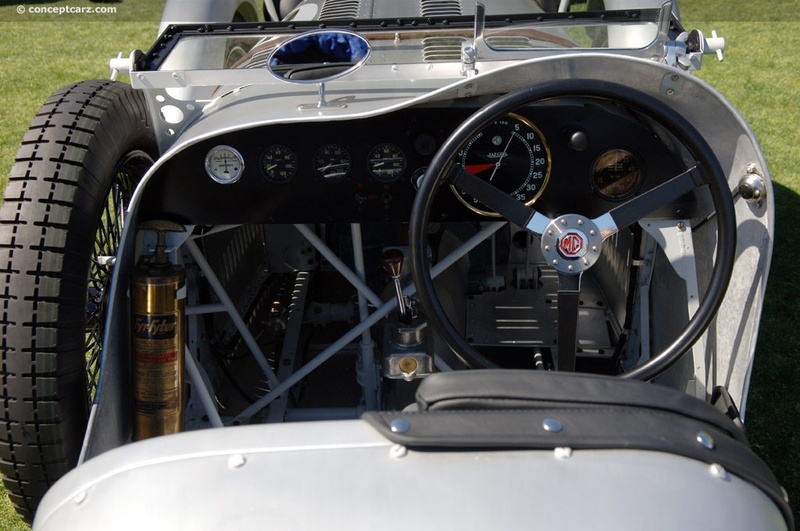 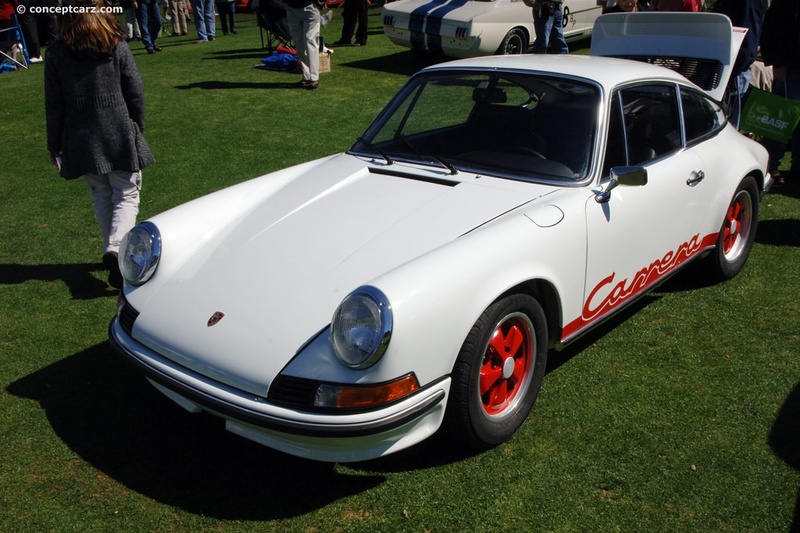 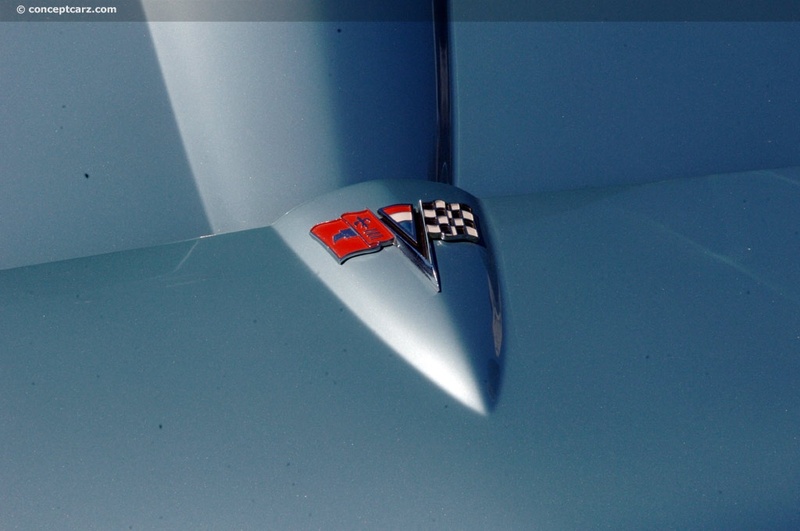 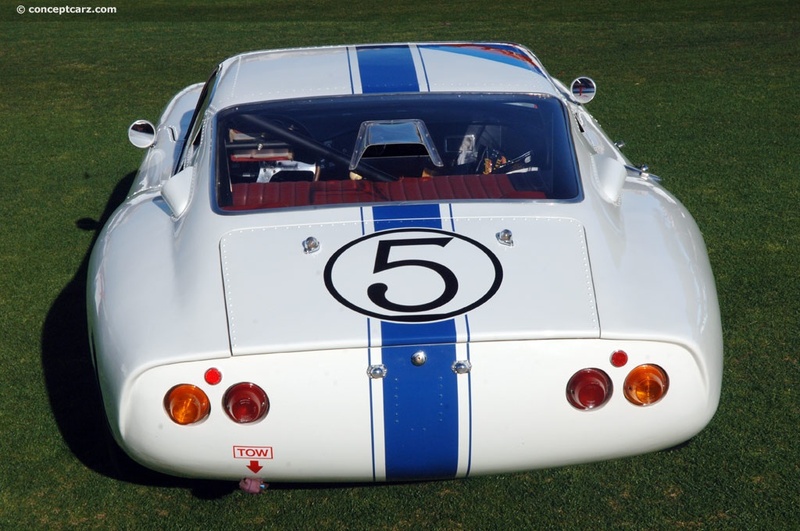 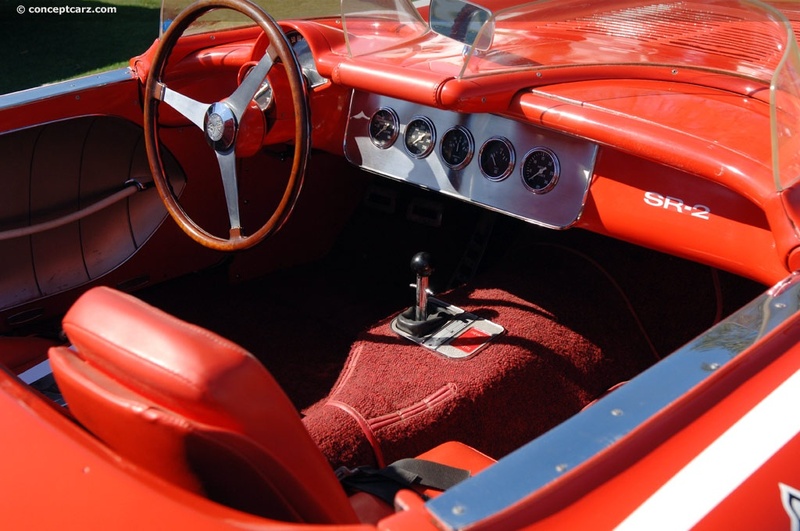 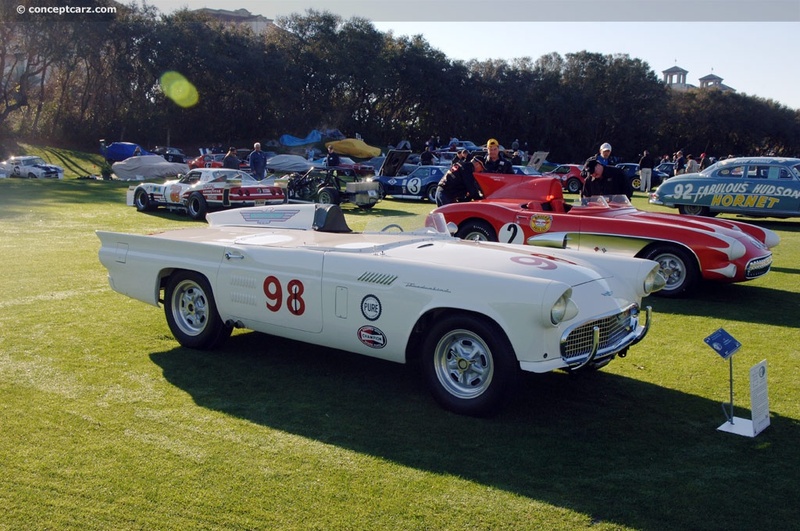 Accompanying the three designated Race Car categories were special groups for Beach Racers, Corvette Race Cars, Porsche Racing Cars, race cars of Parnelli Jones, three categories of Sports Cars, and two categories for Trans-Am racing legends. 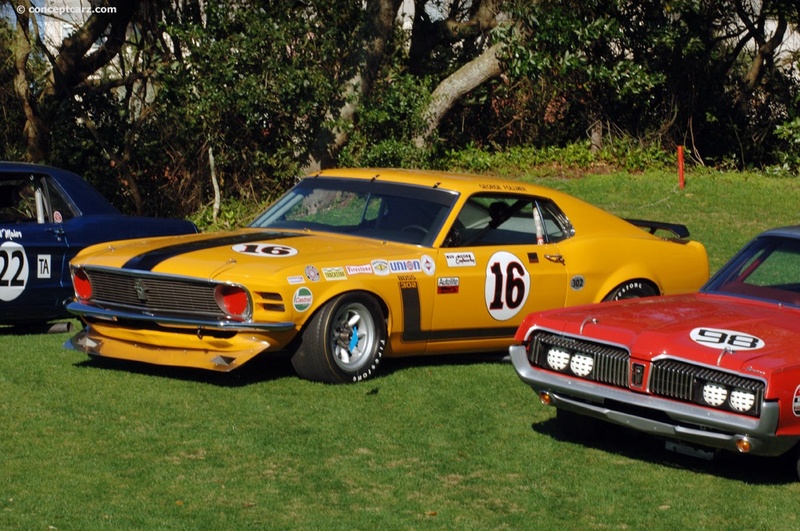 With so much raw horsepower on the field, it was almost a shame to have them just basking in the sun all day. 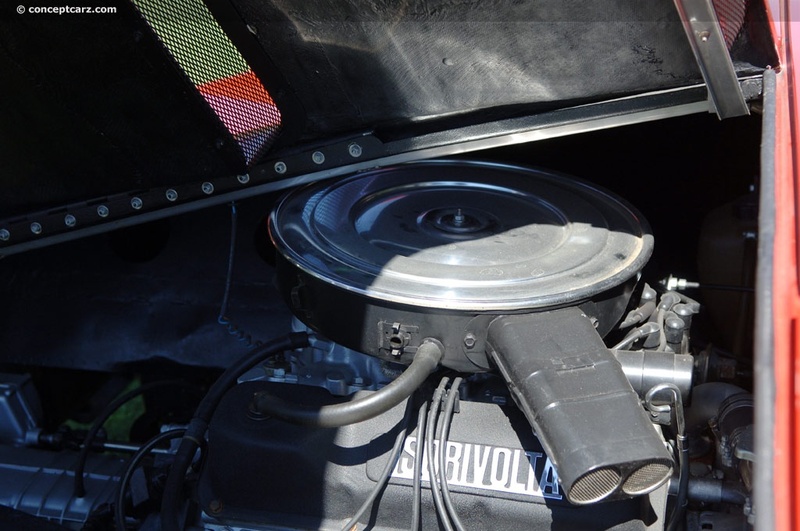 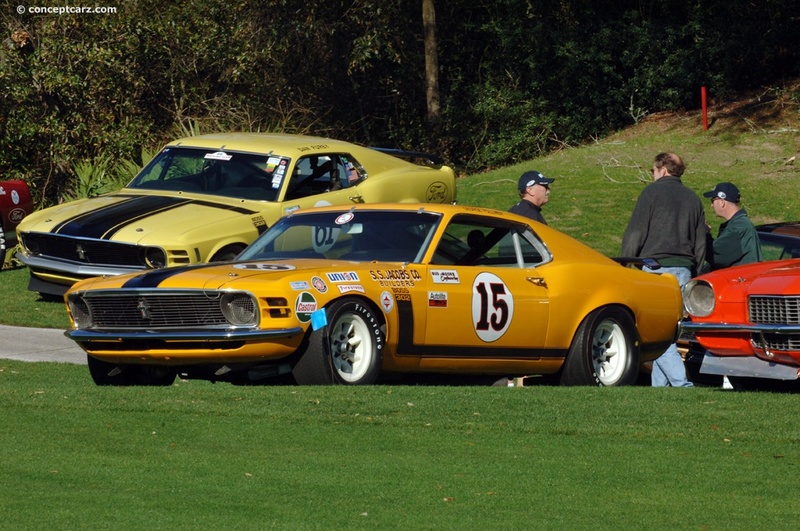 The muscle cars chosen for awards had to cut their engine as they entered the awards area, because they easily overpowered the PA-system. 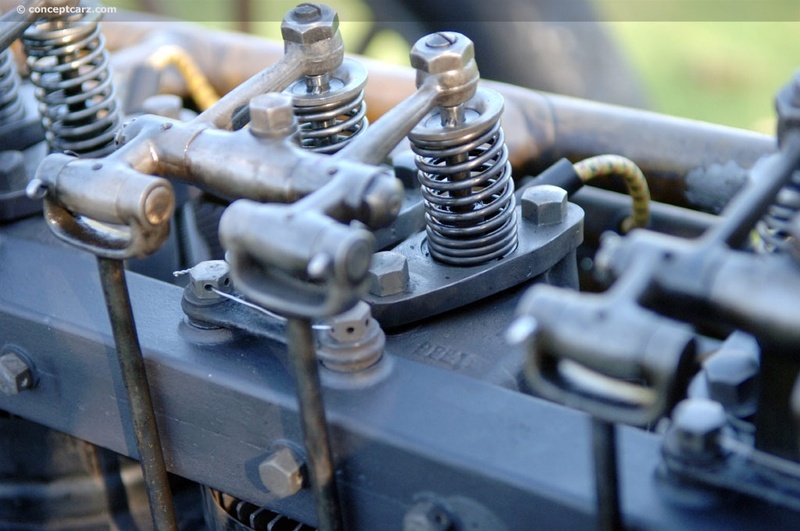 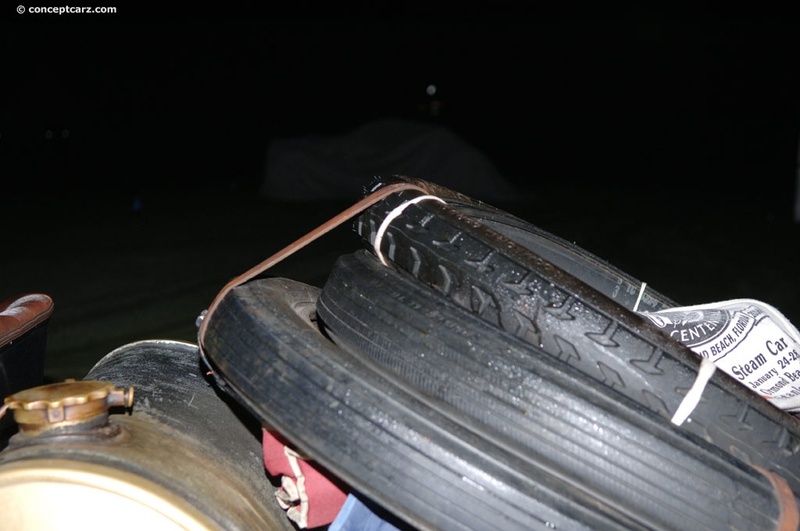 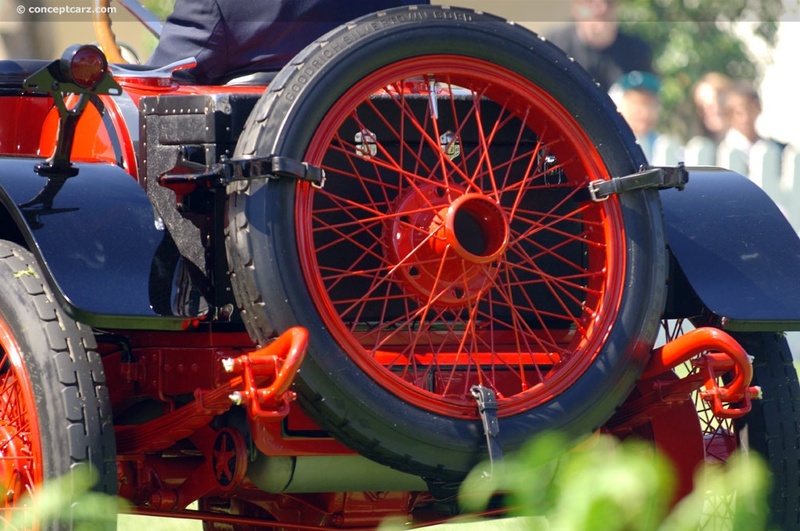 All watched as the car was re-started and the owner did all that was possible to slowly ease out the clutch, give it a little gas, finding the delicate balance of not stalling or not having the rear-end tear up the grass. 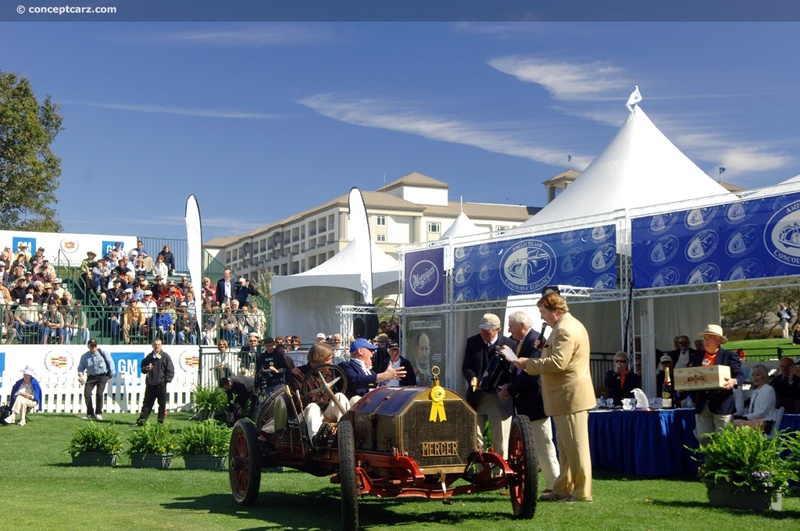 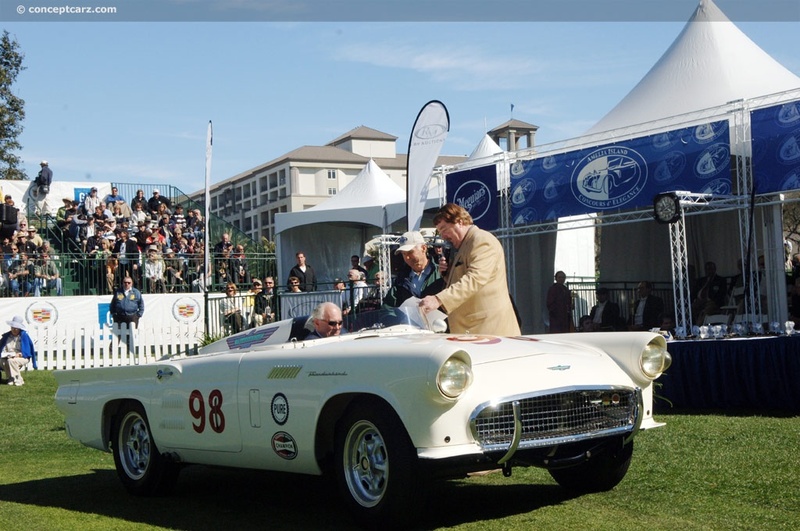 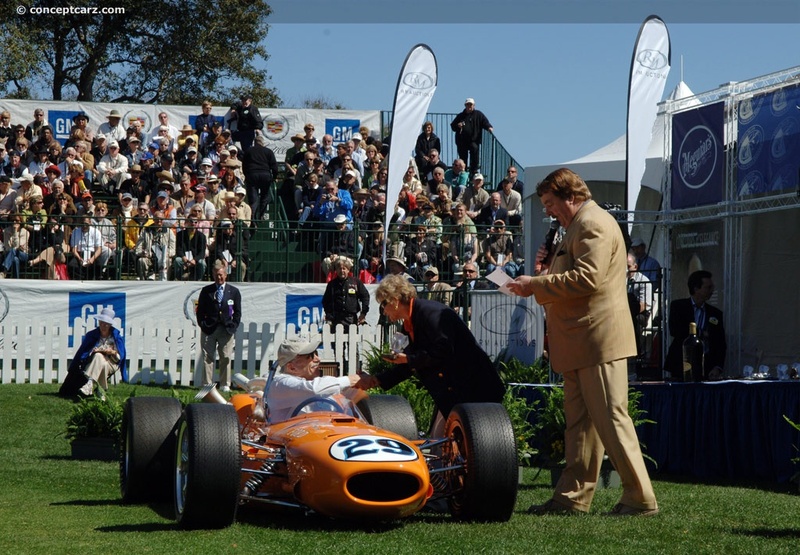 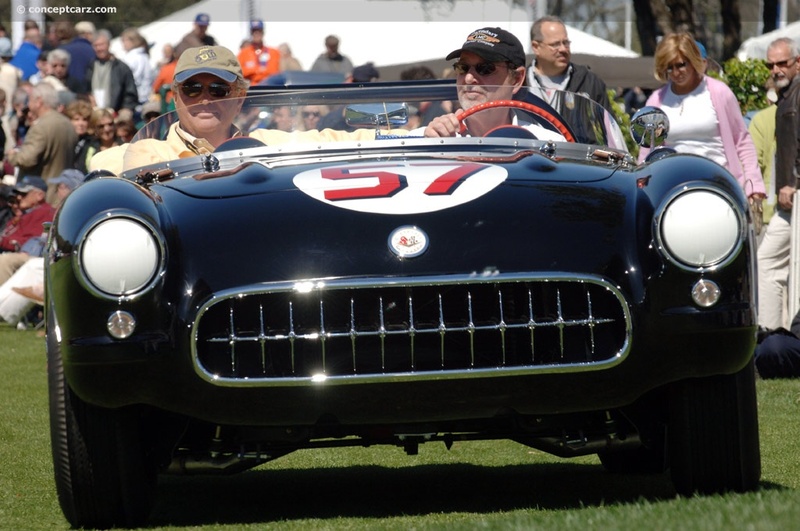 This was the 13th edition of the annual Amelia Concours event, and American racing legend Parnelli Jones was chosen as the honoree. 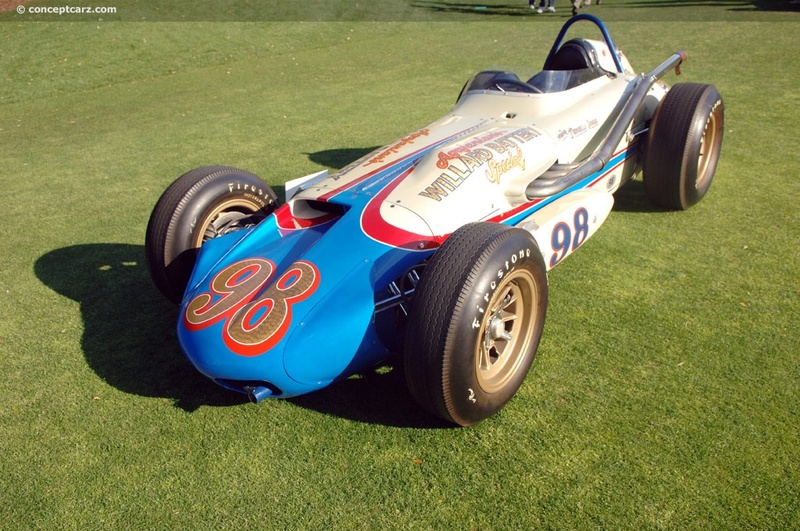 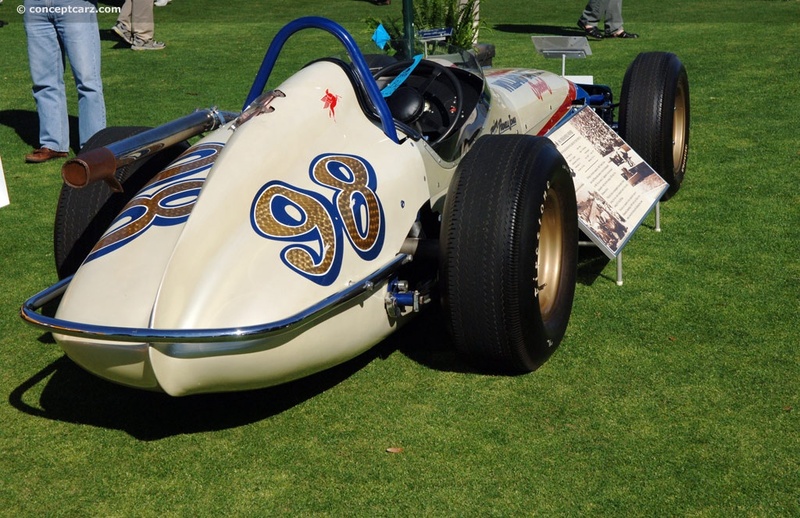 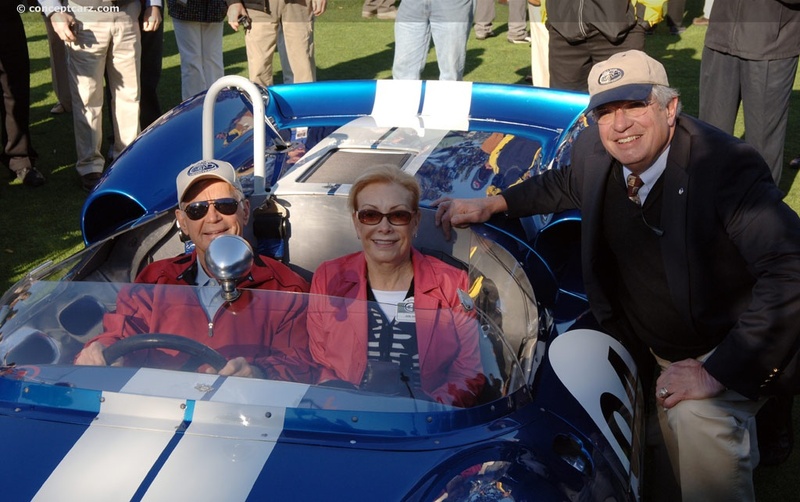 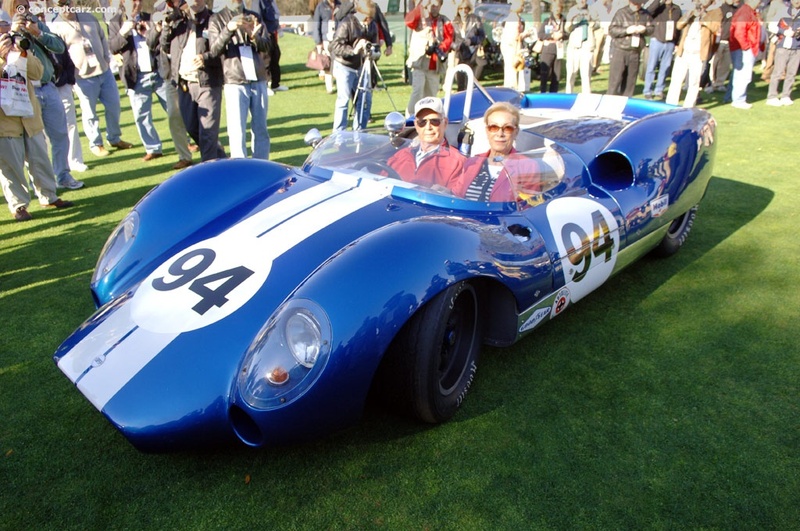 'When one talks about versatile race car drivers, the name Parnelli Jones is right at the top of the list for most people,' says Bill Warner, Concours founder and chairman. 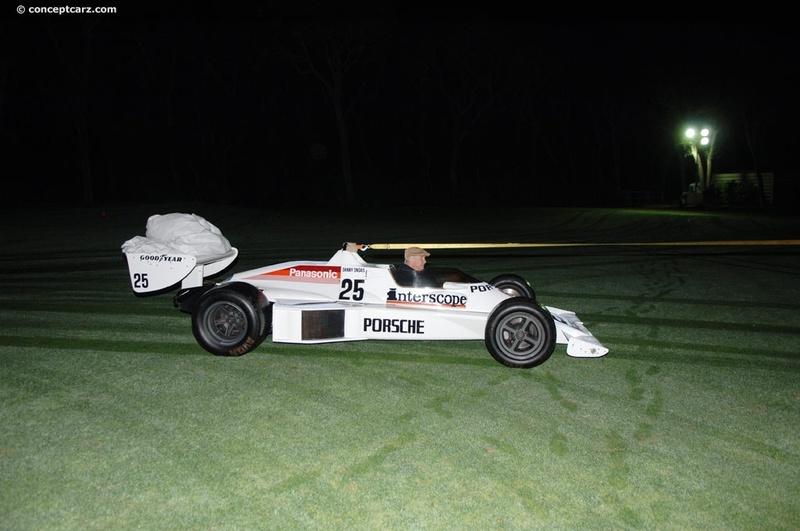 'We're thrilled to have him at our event. 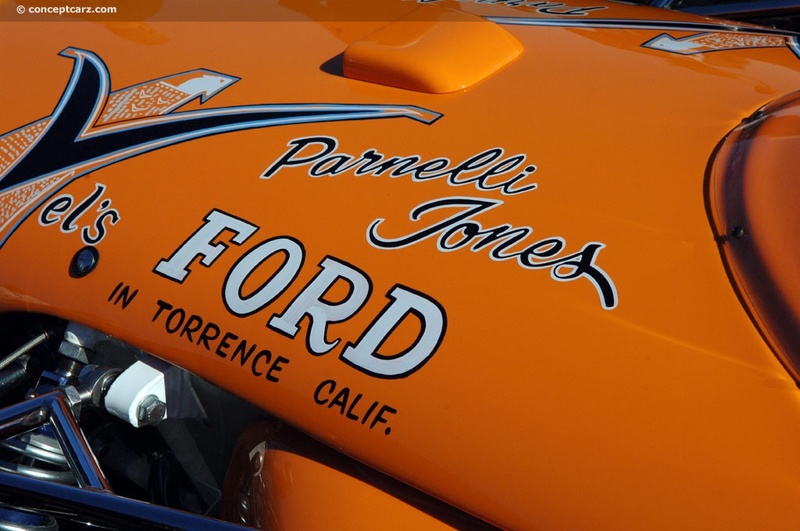 He was a champion in Indy, Trans-Am, sprint cars, stock cars, USRRC, and off-road racing. 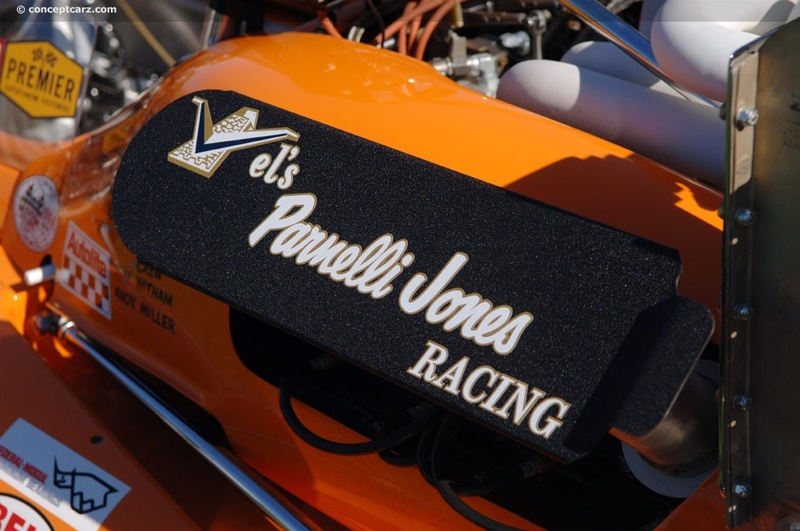 There aren't many drivers who can claim that kind of a record.' 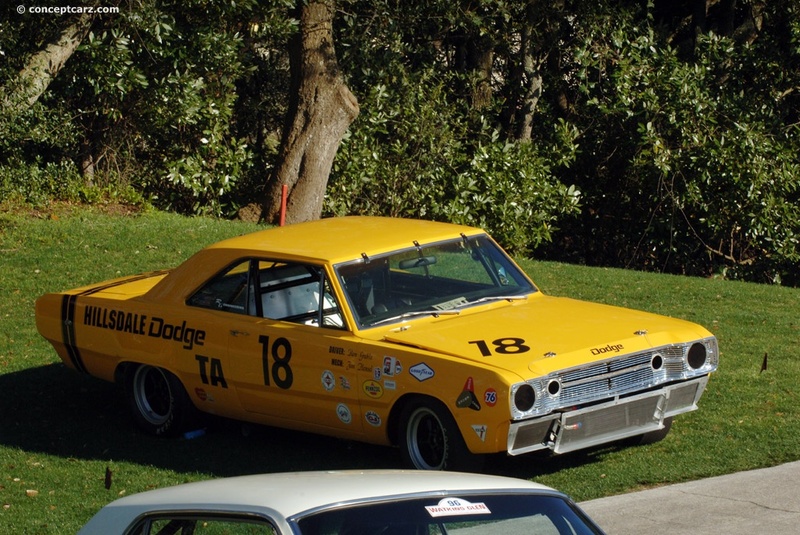 Among his racing accomplishments were winning the Indianapolis 500 in 1963 and 1967, and the Trans-Am series against fierce competition in 1970. 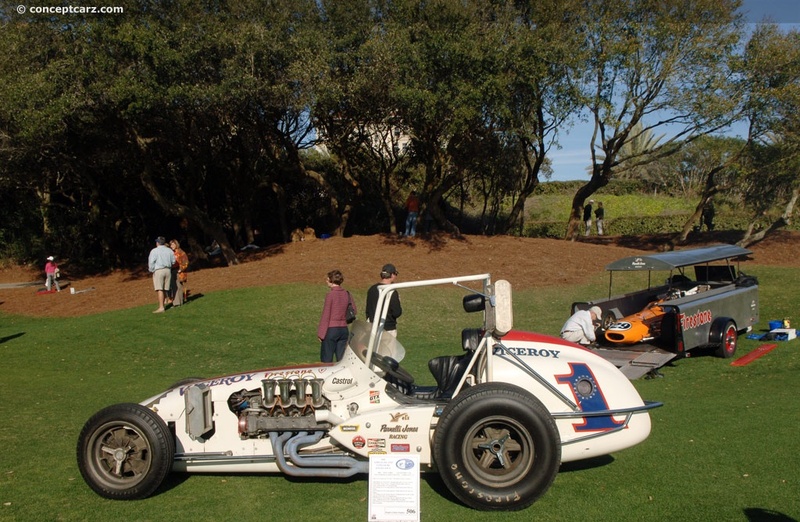 Other victories include the Pikes Peak Hillclimb and the Baja 500 and 10000 races, among numerous other victories in four-wheel competition. 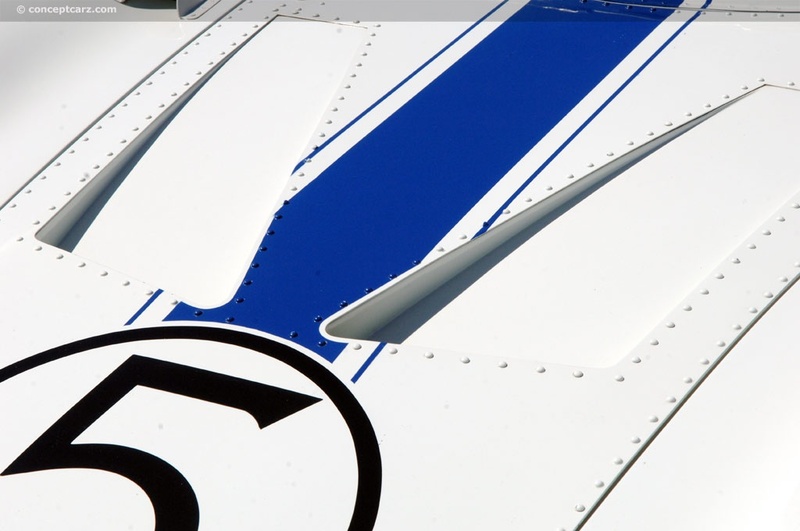 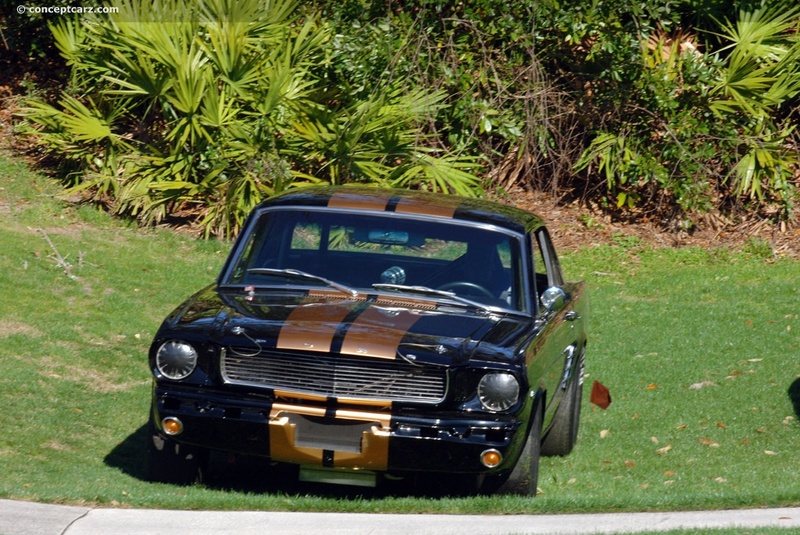 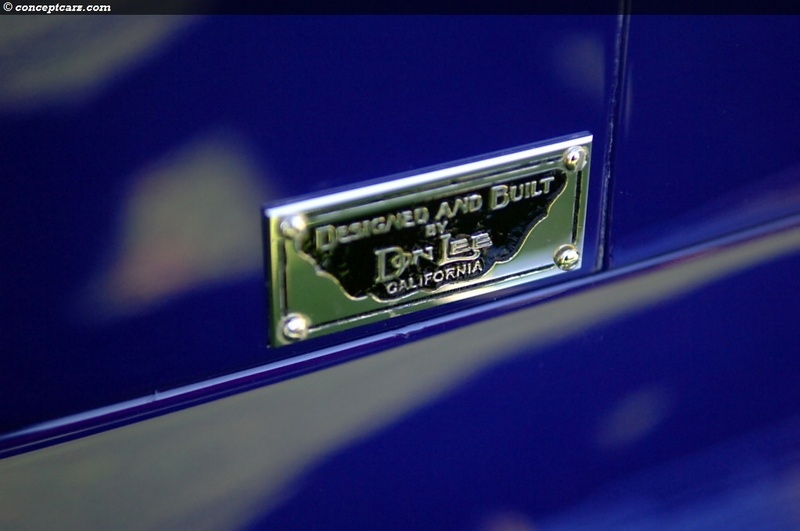 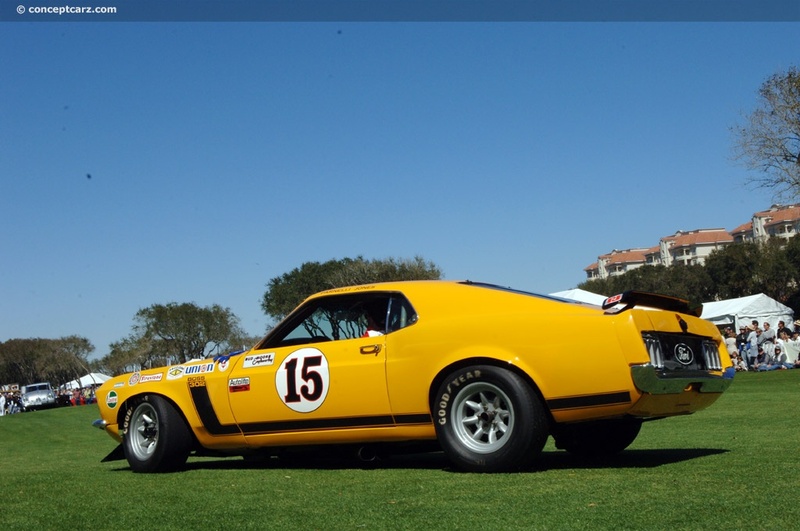 His legacy extends further than just racing, with one of the more recent automotive endeavors being the signature, Saleen Mustang Parnelli Jones limited-edition. 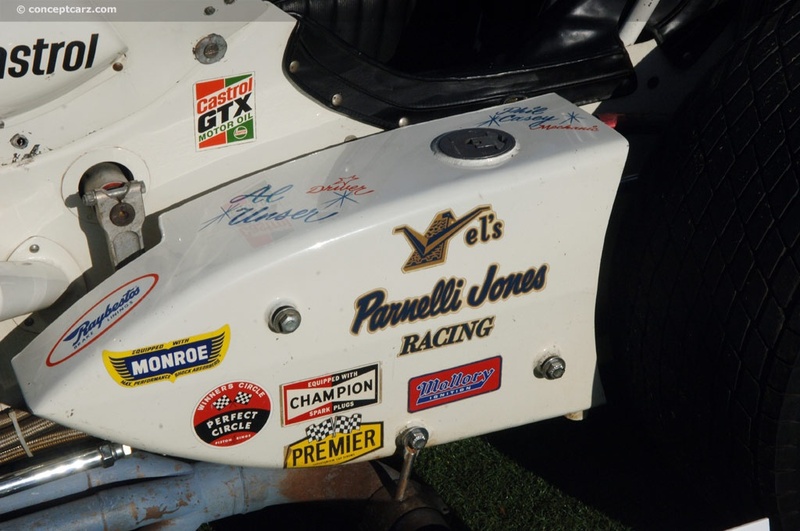 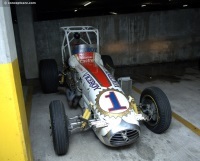 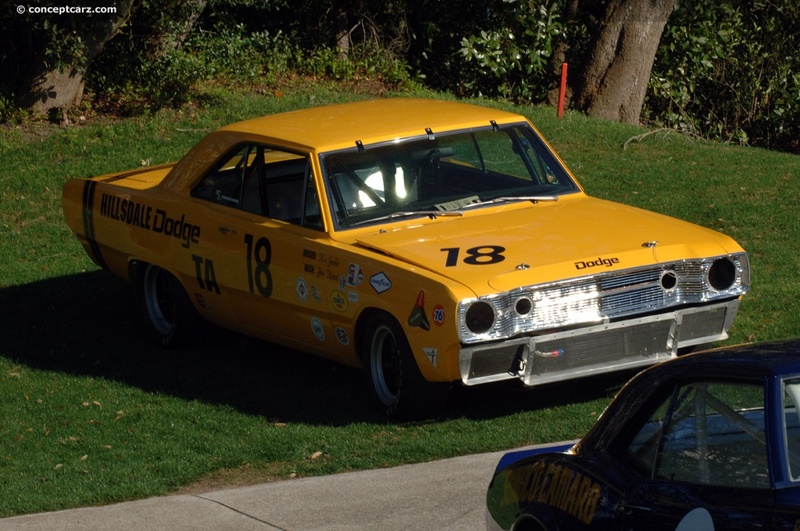 In recognition of his racing accomplishments, around ten cars from his career were featured on the show field. 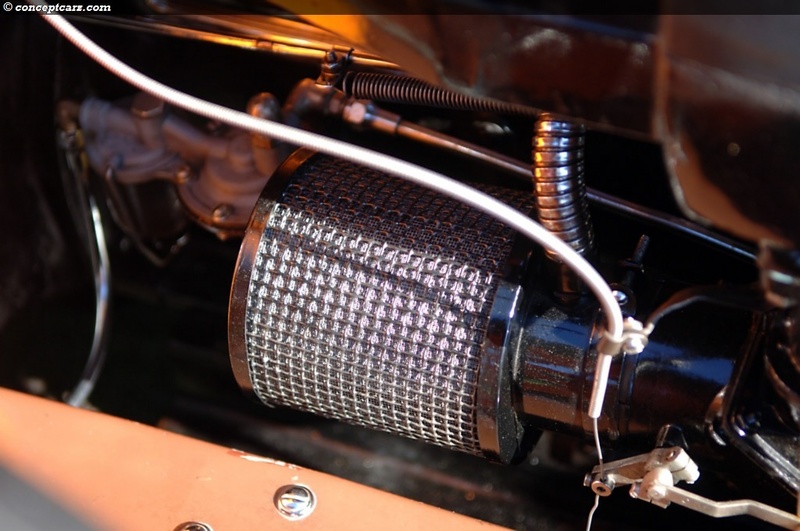 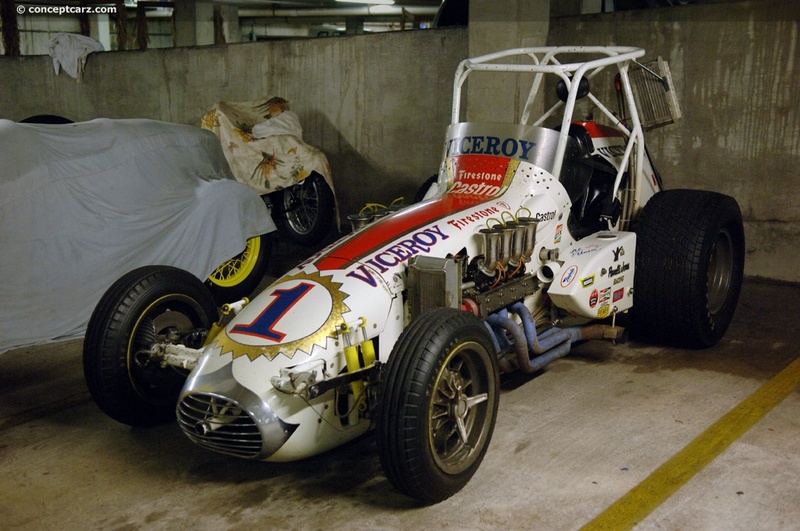 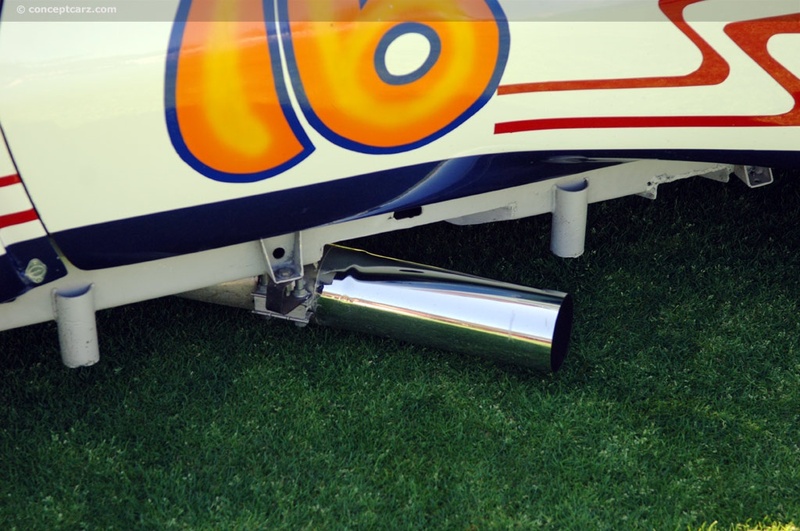 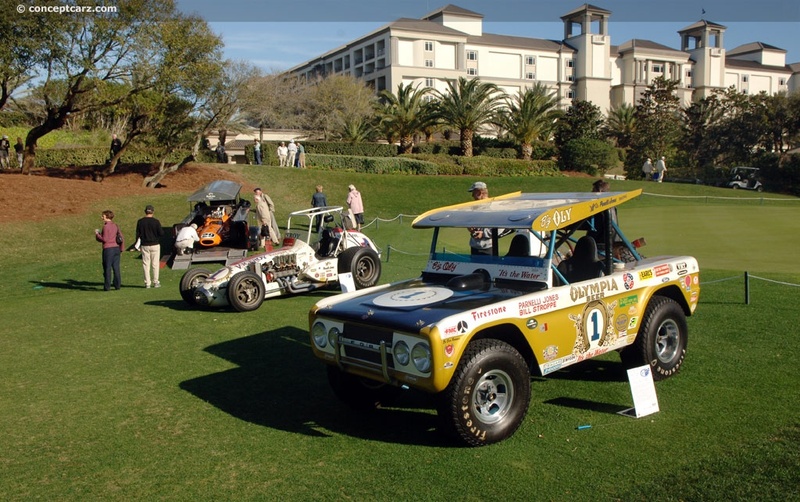 These ranged from dirt-track racers, Indy cars, Trans-Am cars, and even an off-road Baja 1000 racer. 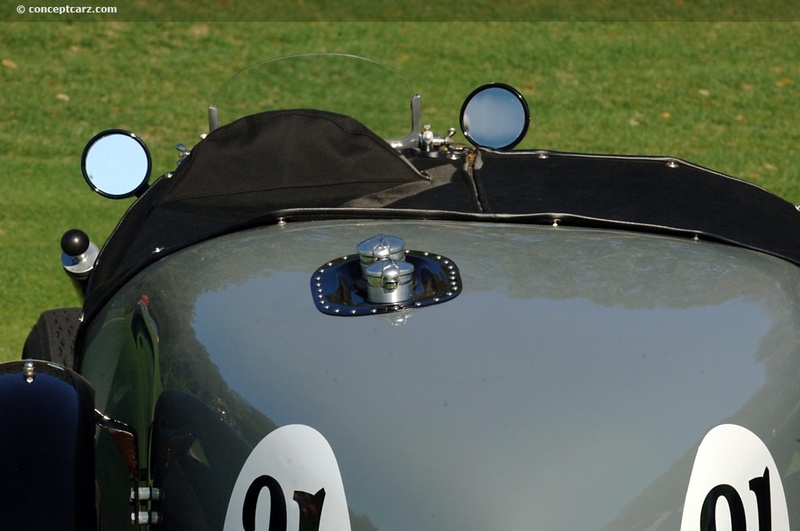 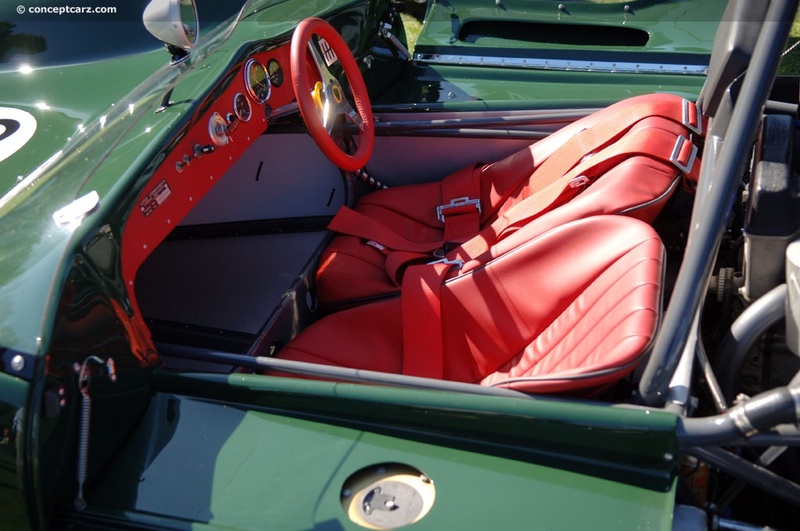 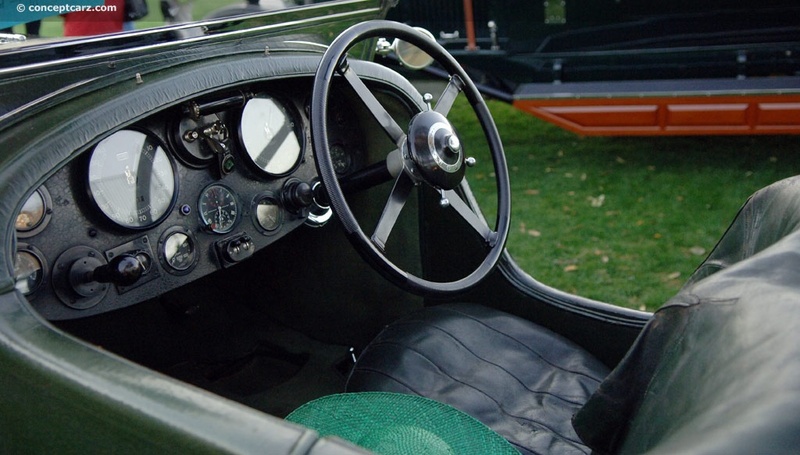 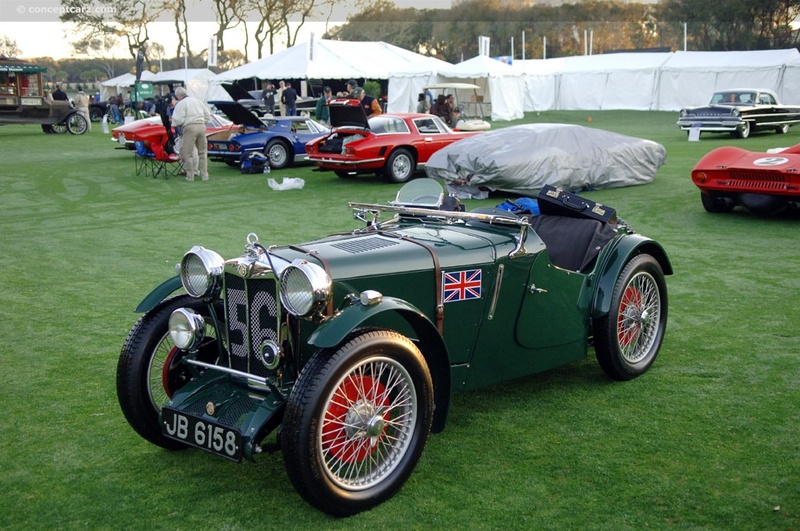 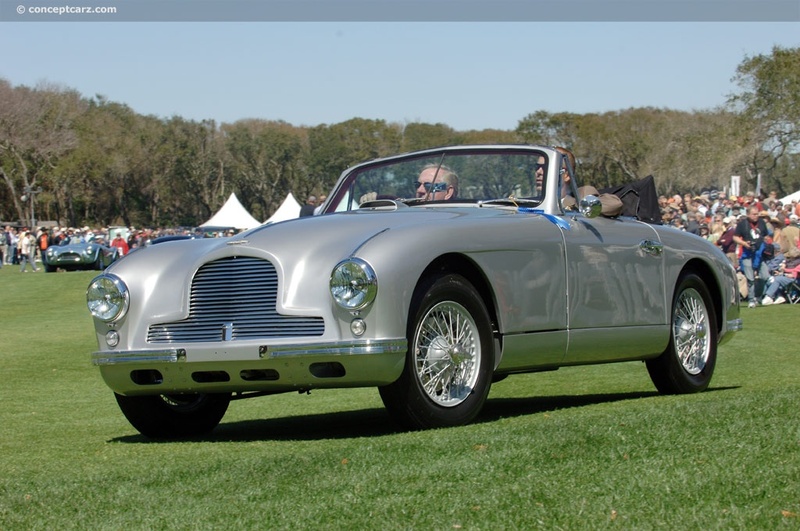 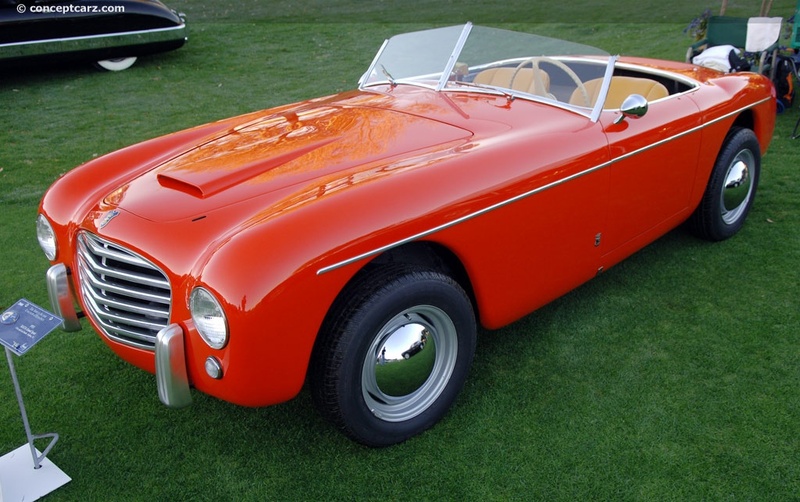 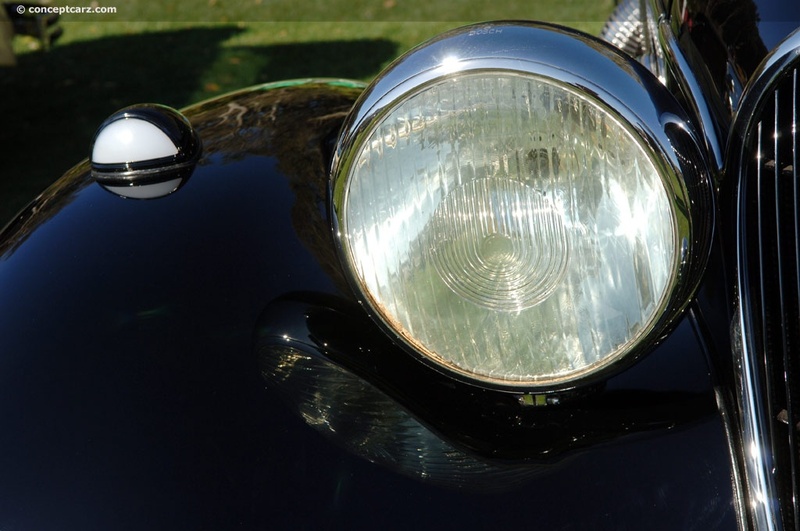 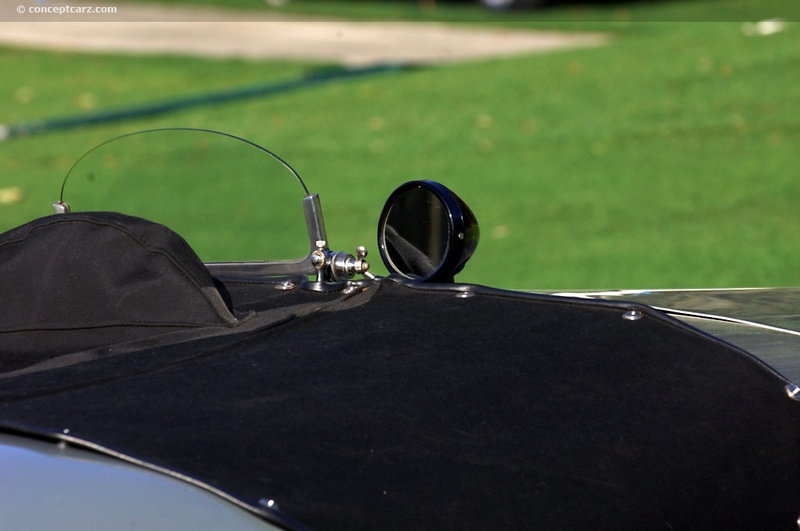 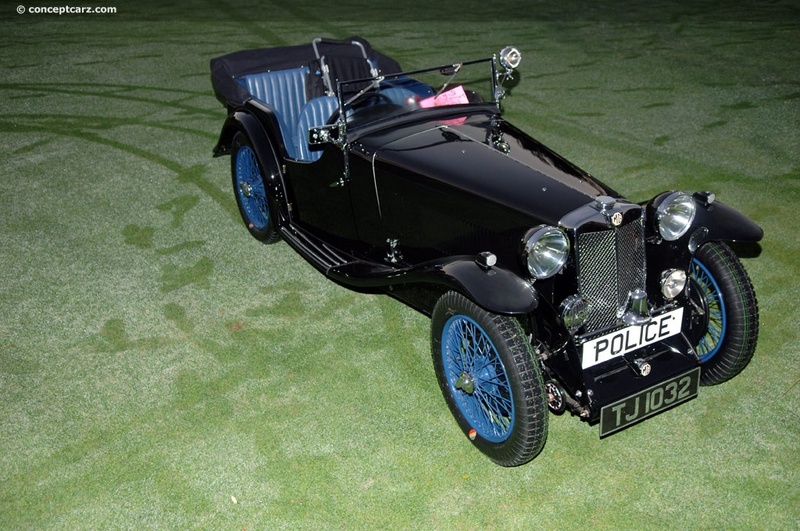 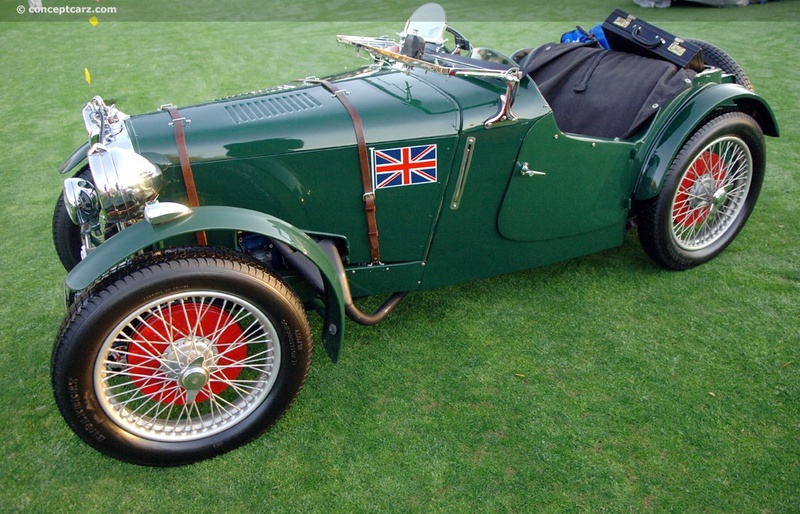 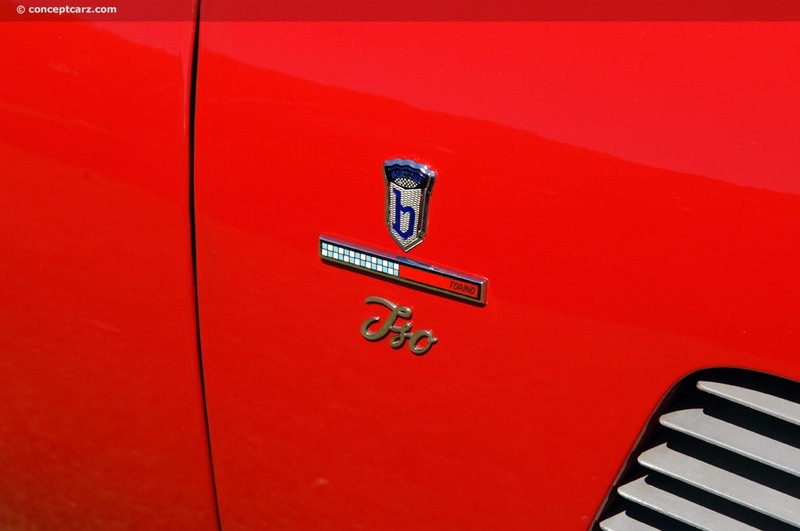 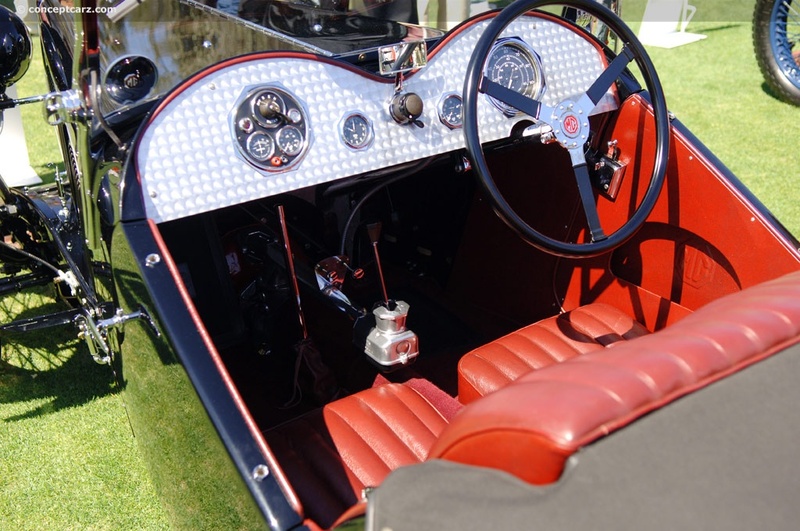 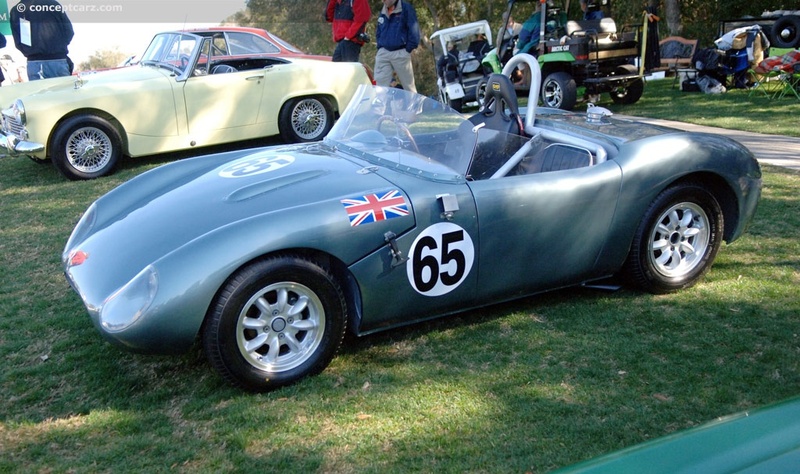 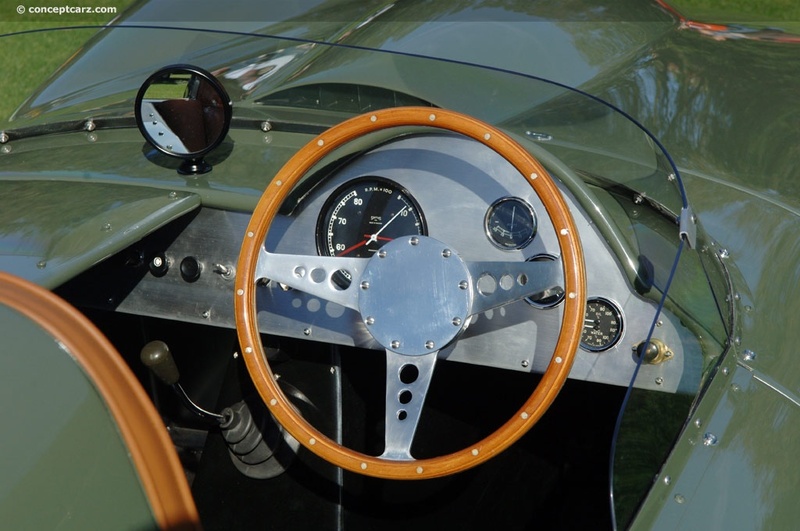 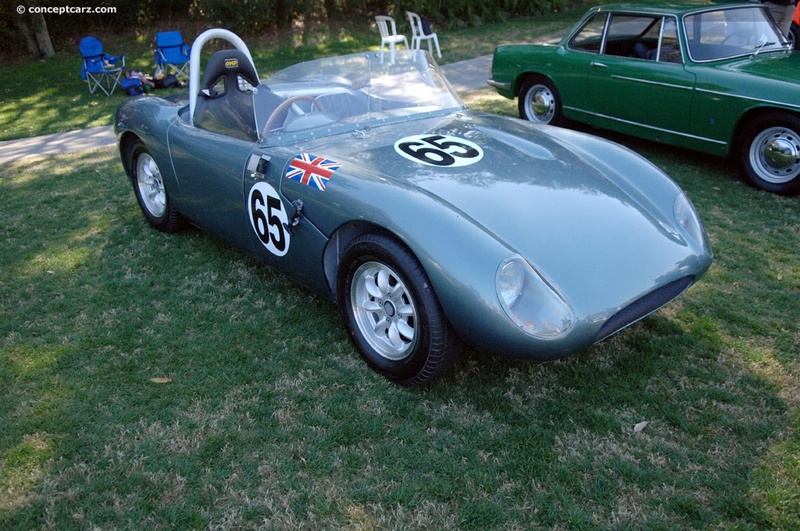 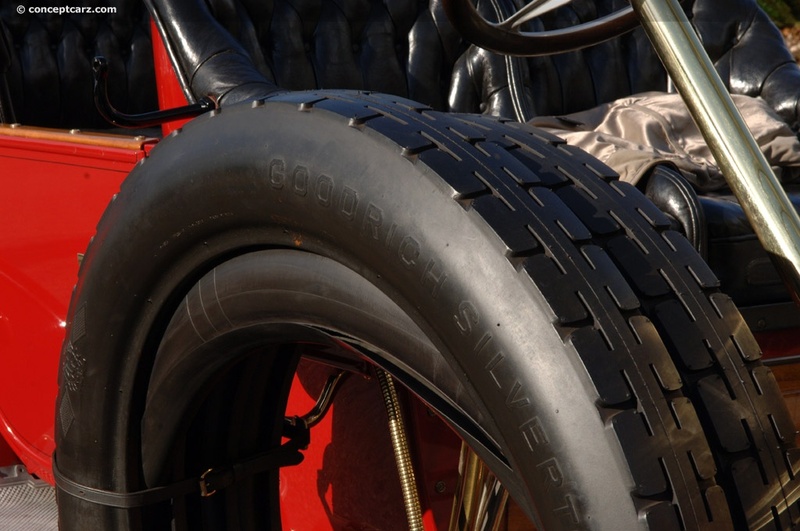 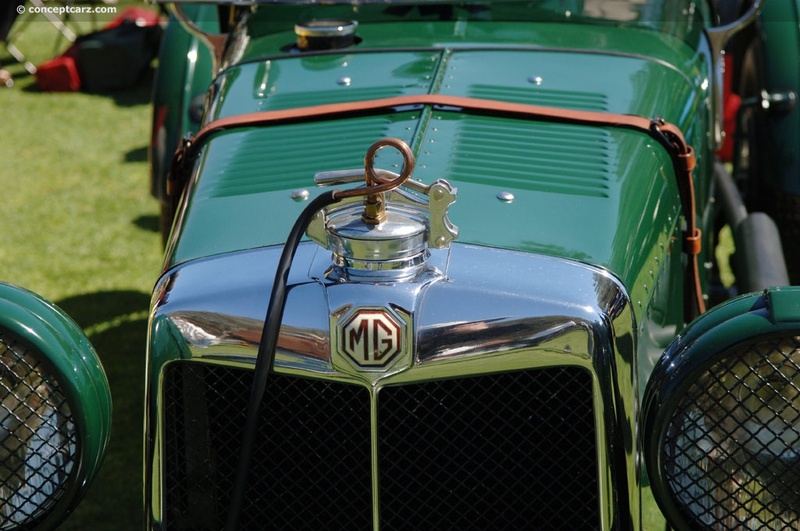 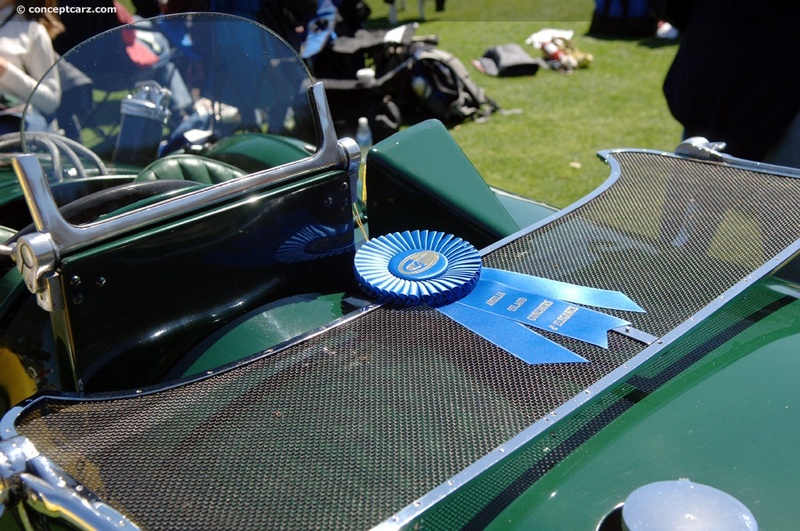 The Cooper Monaco was chosen by the judges as their 'Best in Class.' 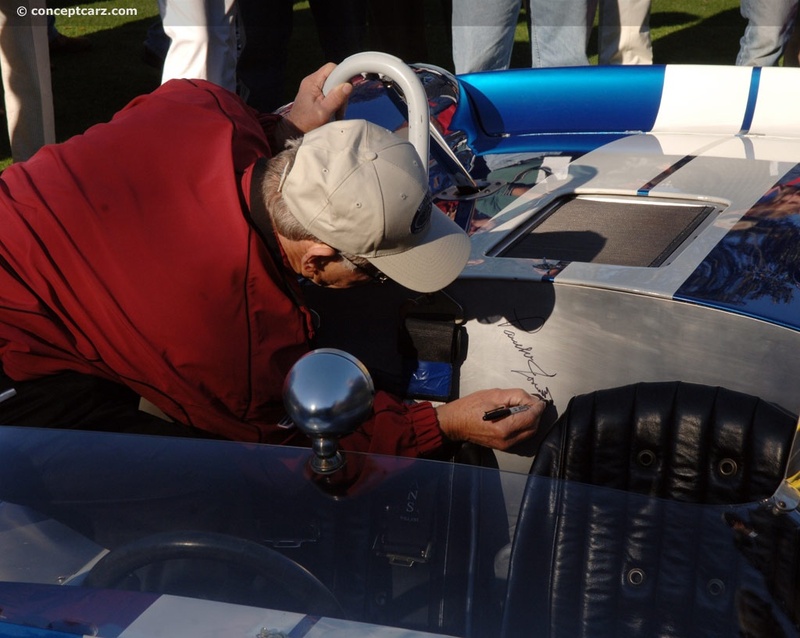 It was even hand-signed by Jones during the Concours. 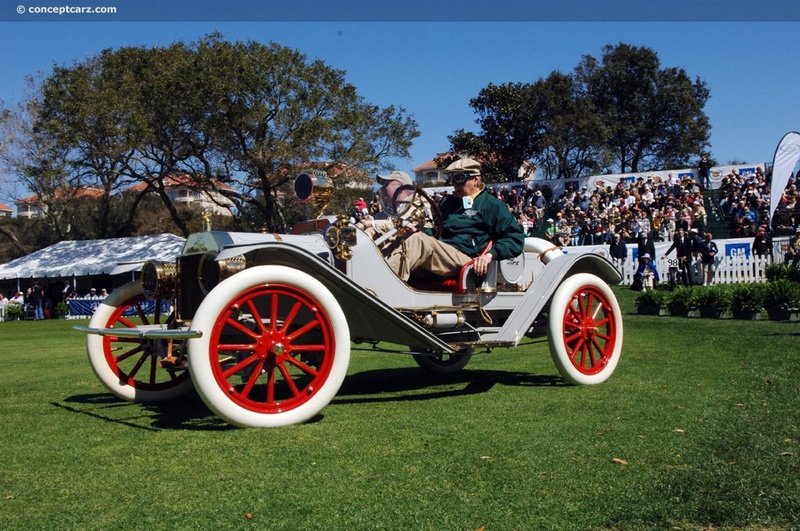 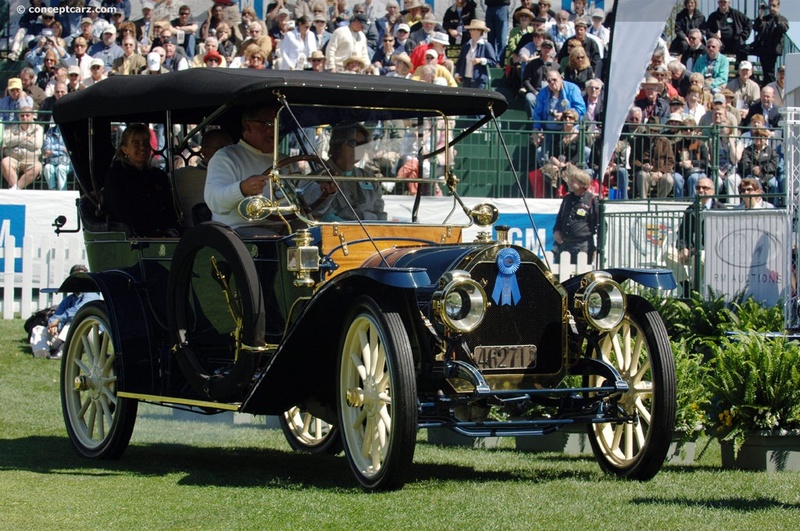 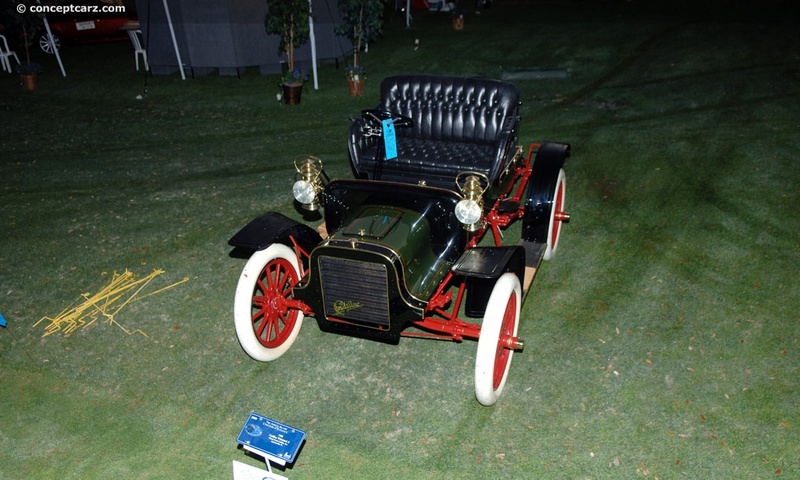 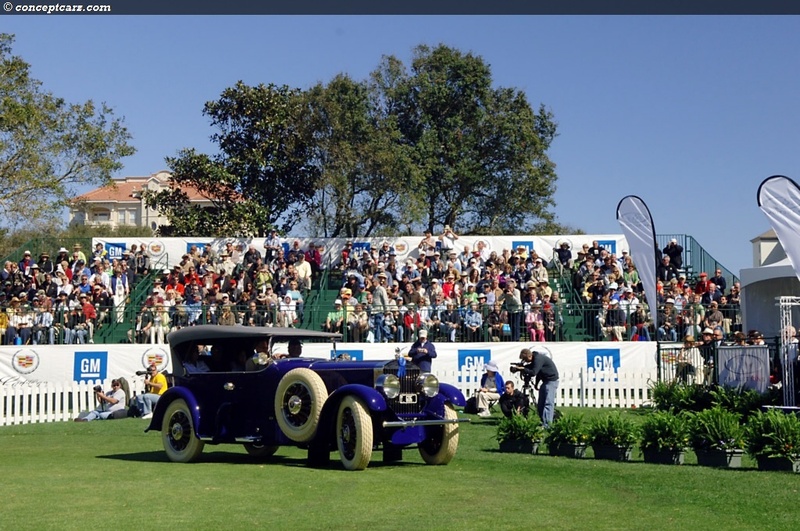 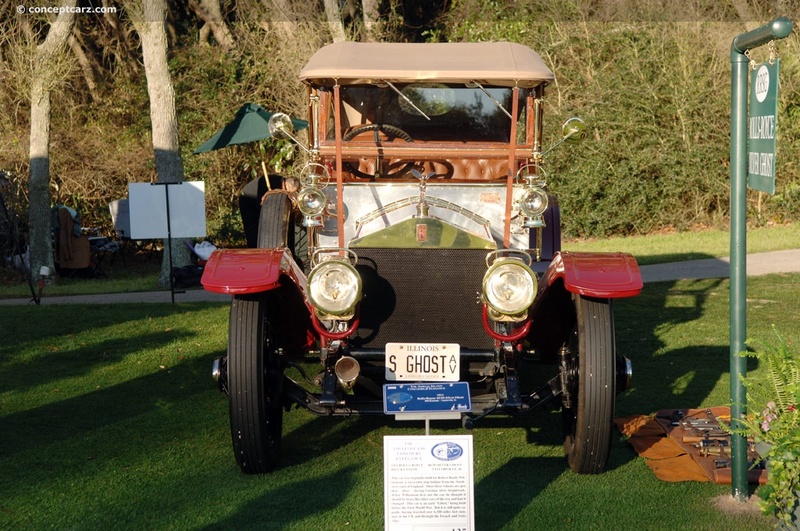 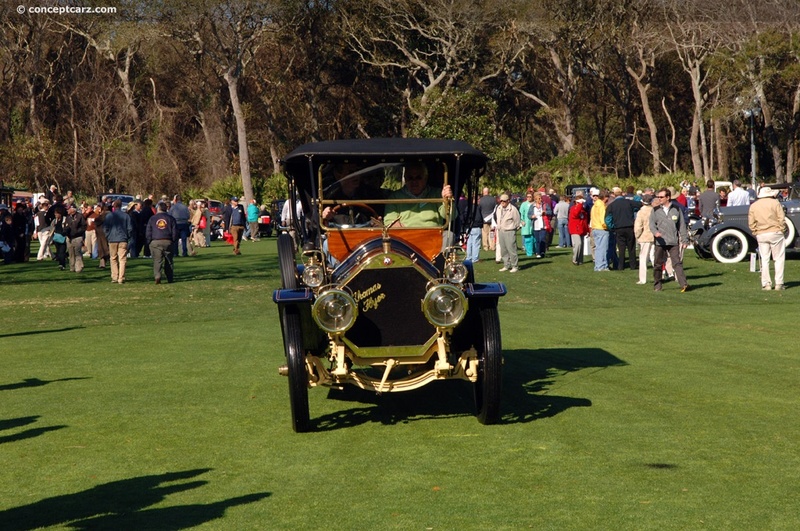 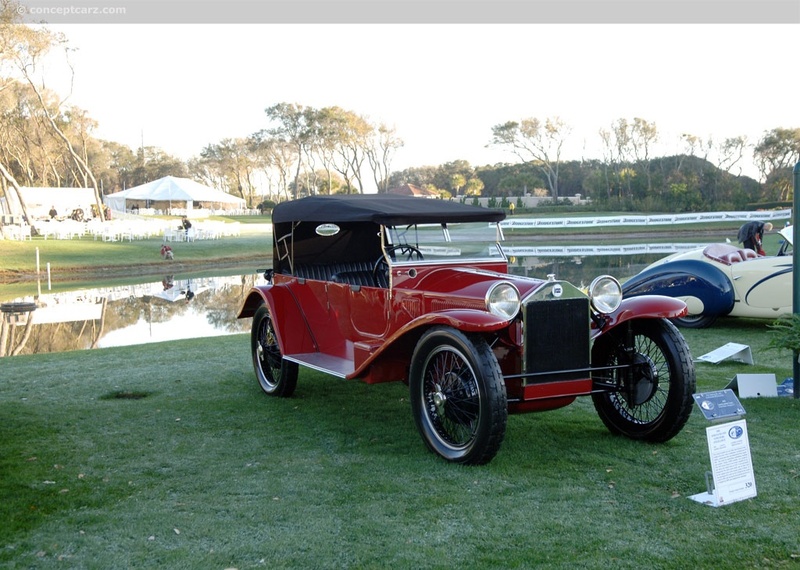 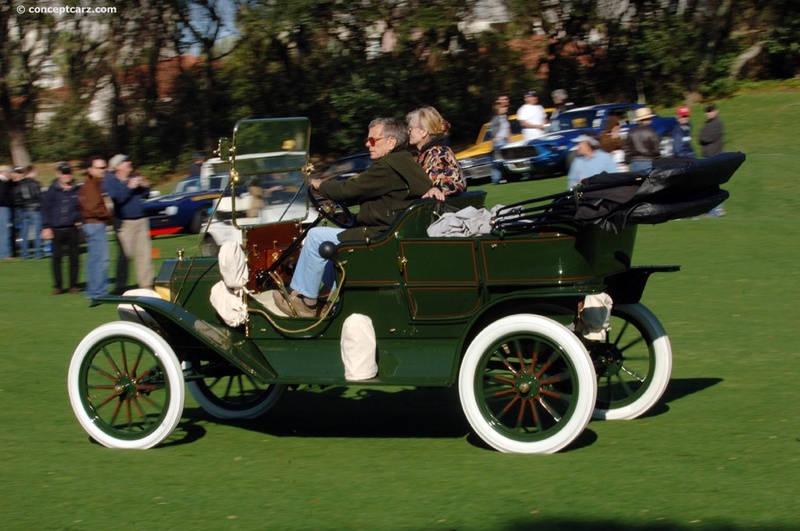 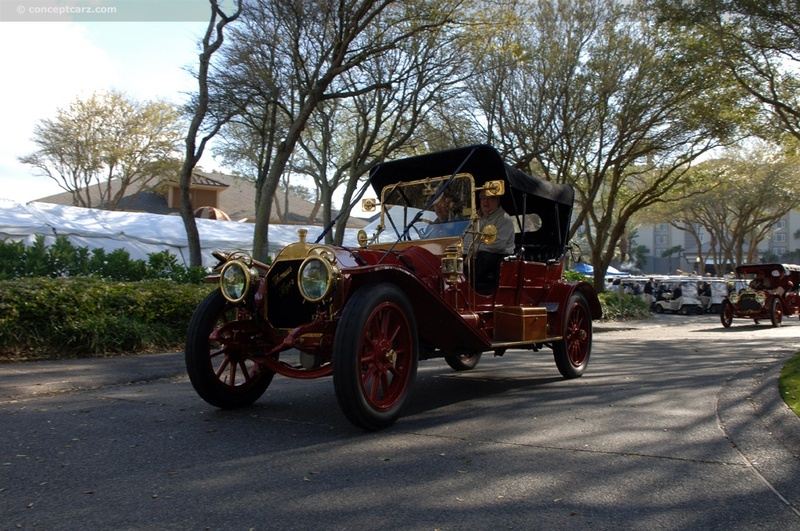 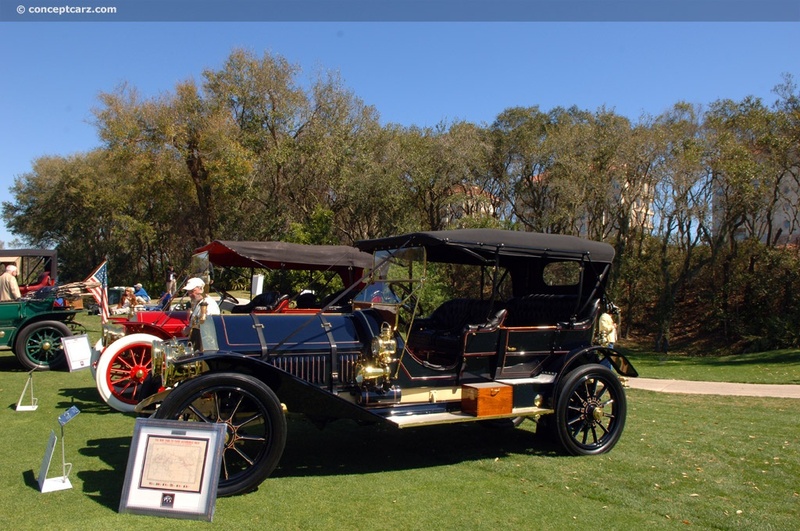 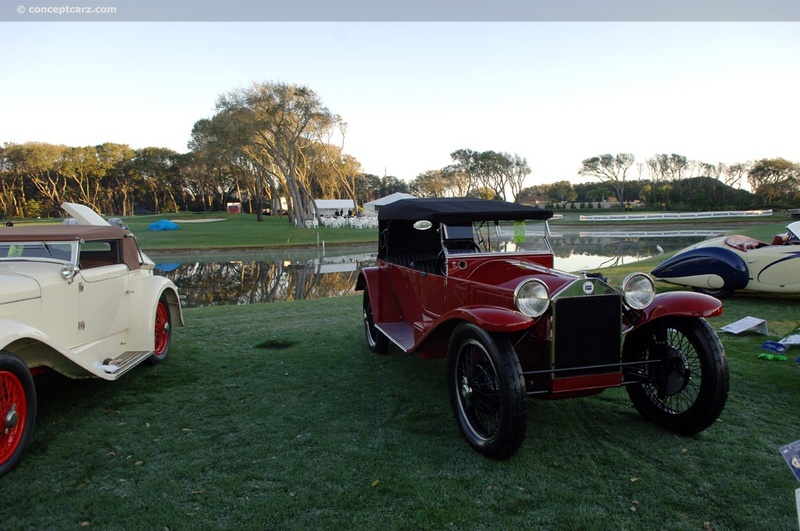 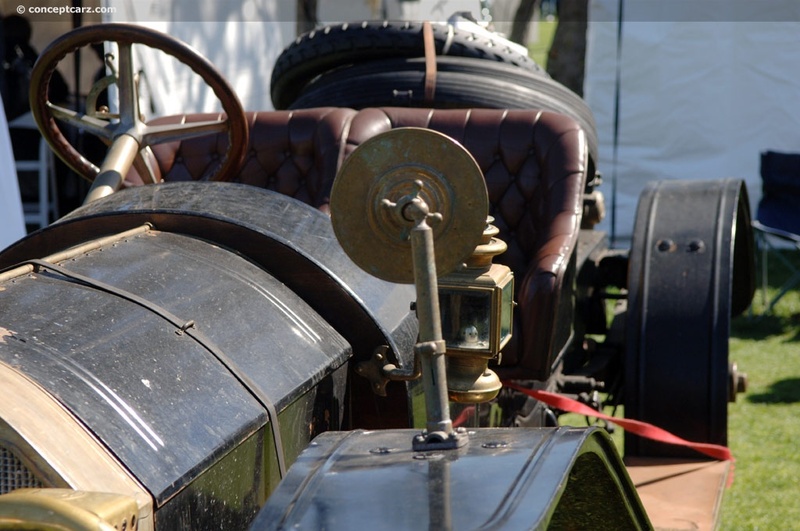 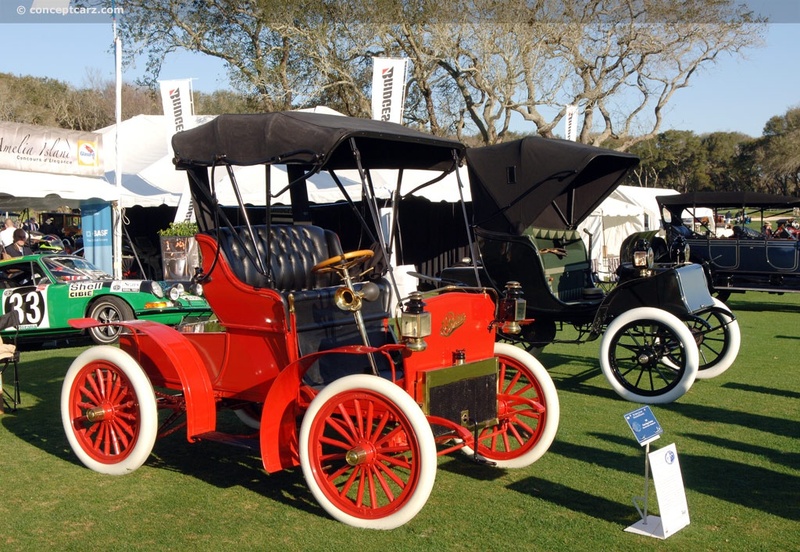 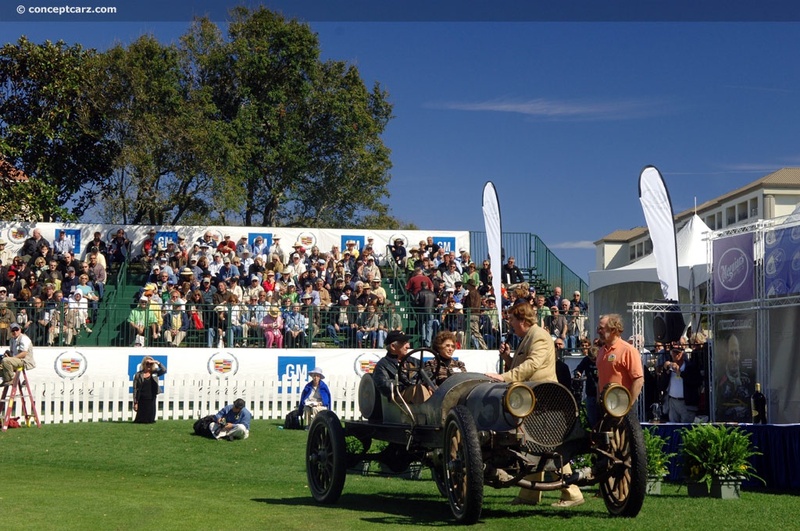 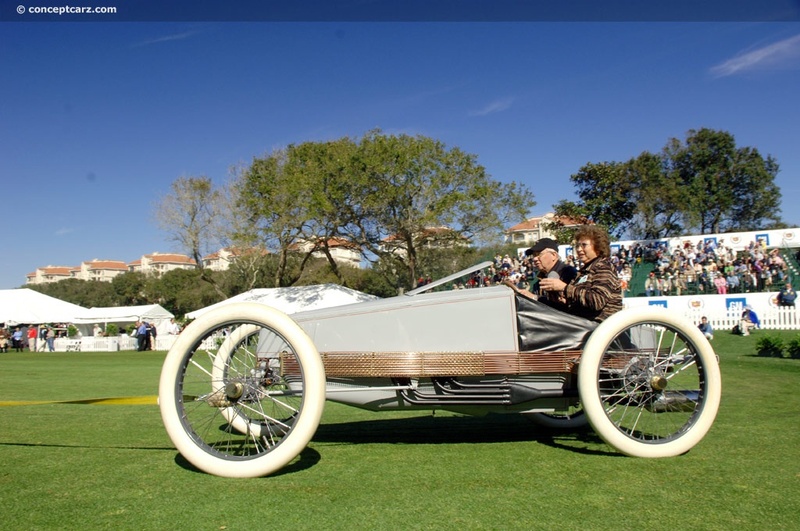 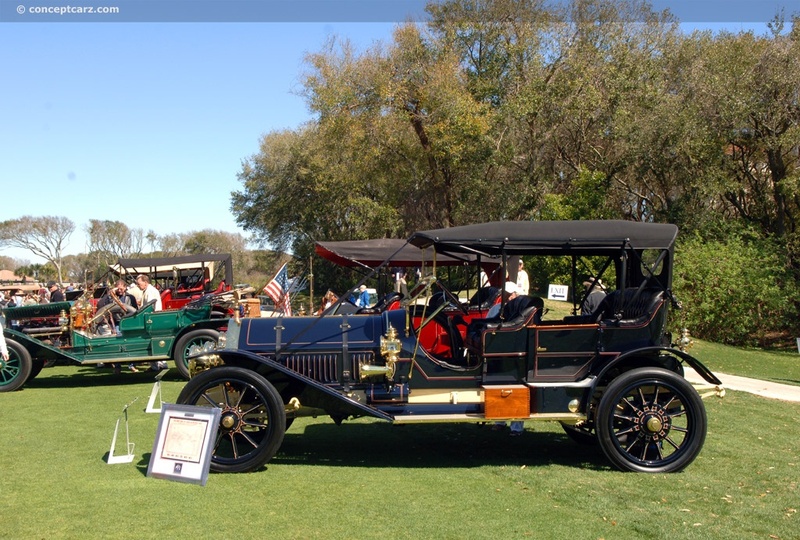 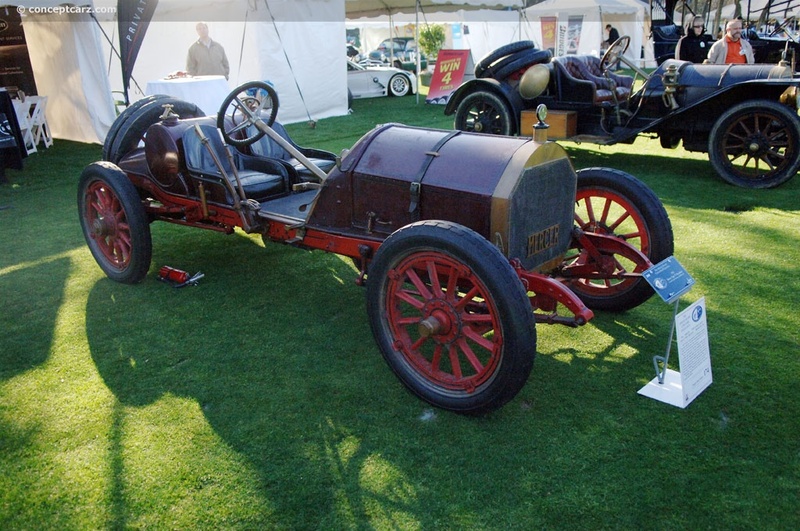 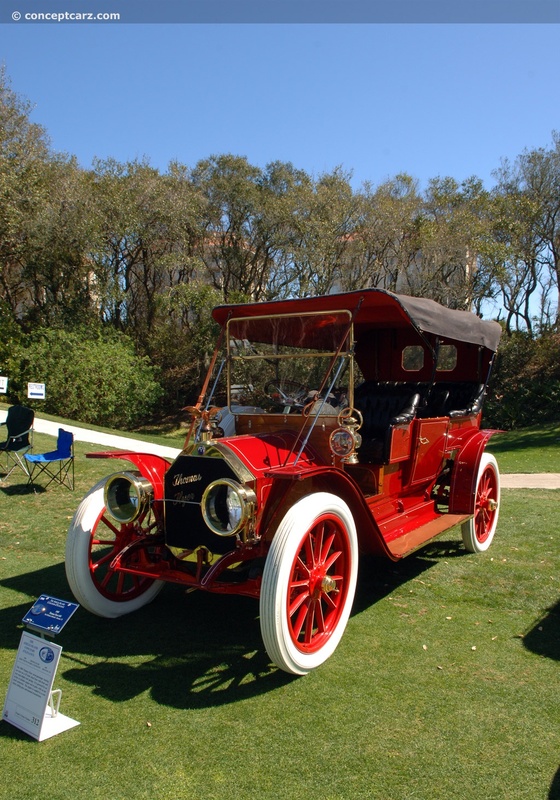 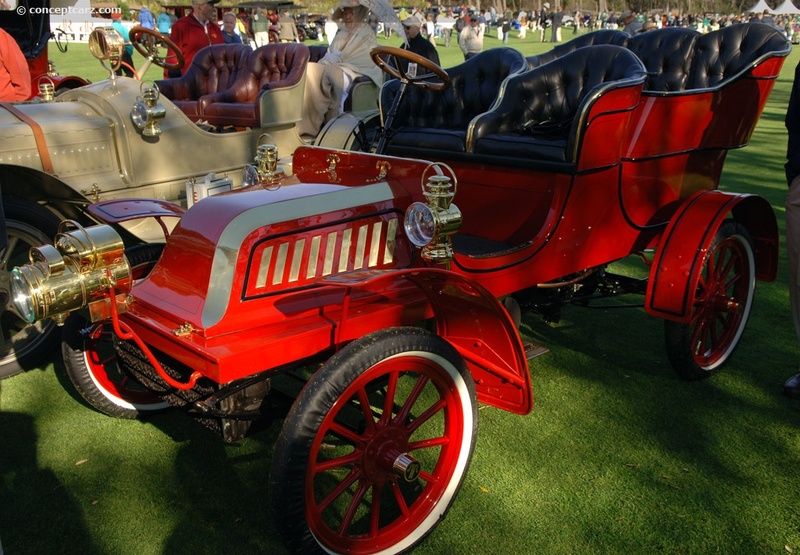 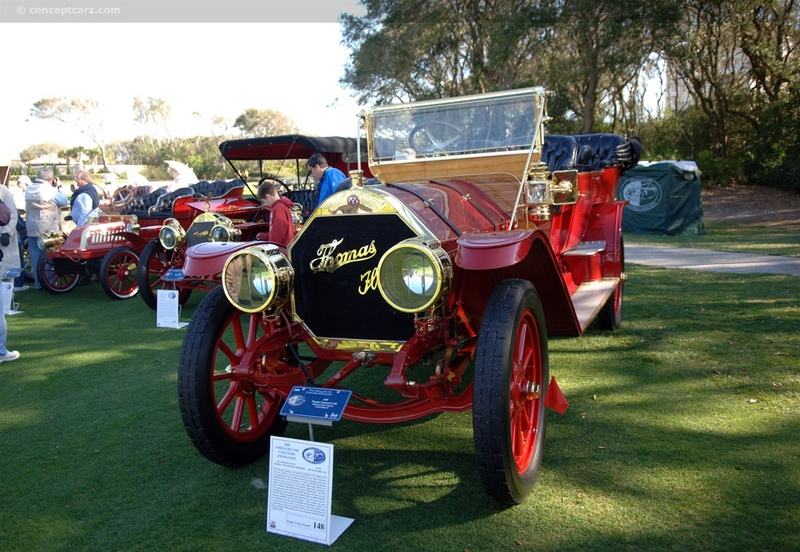 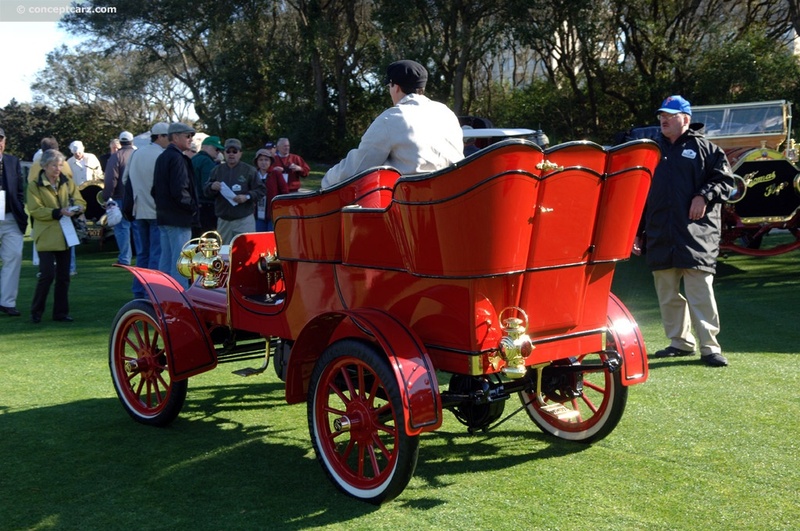 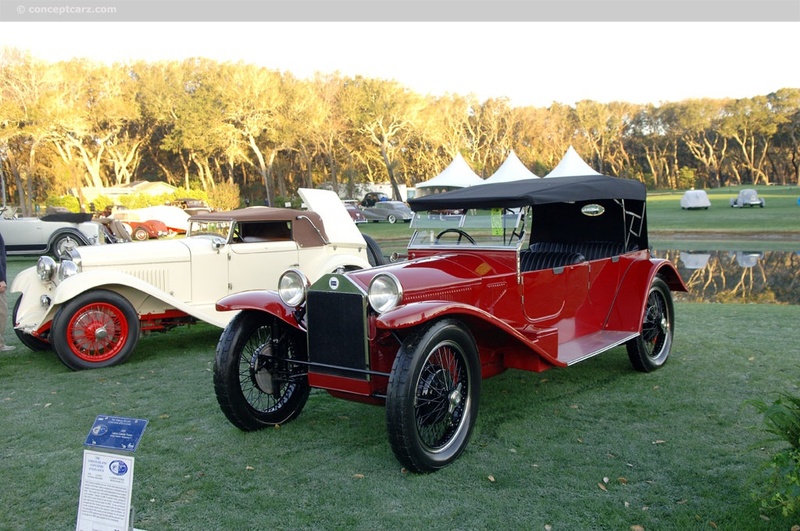 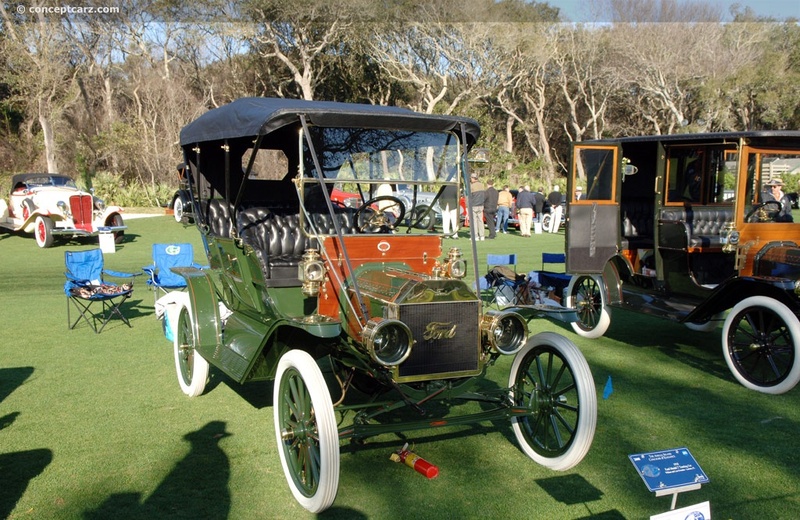 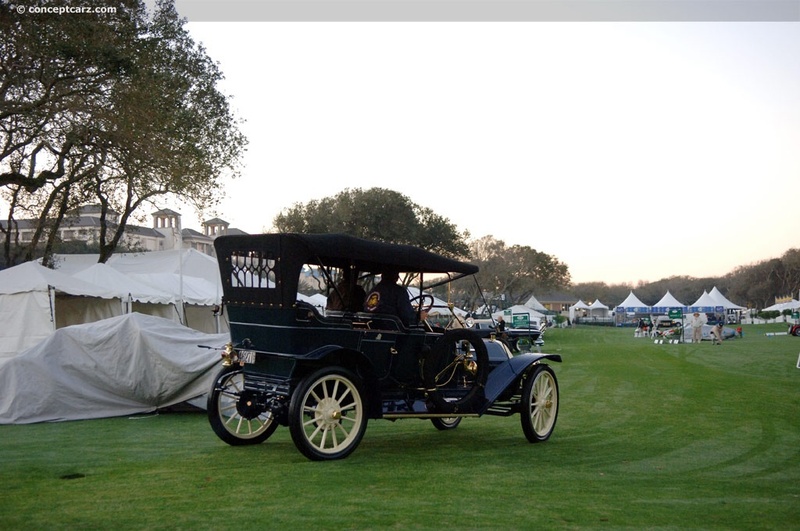 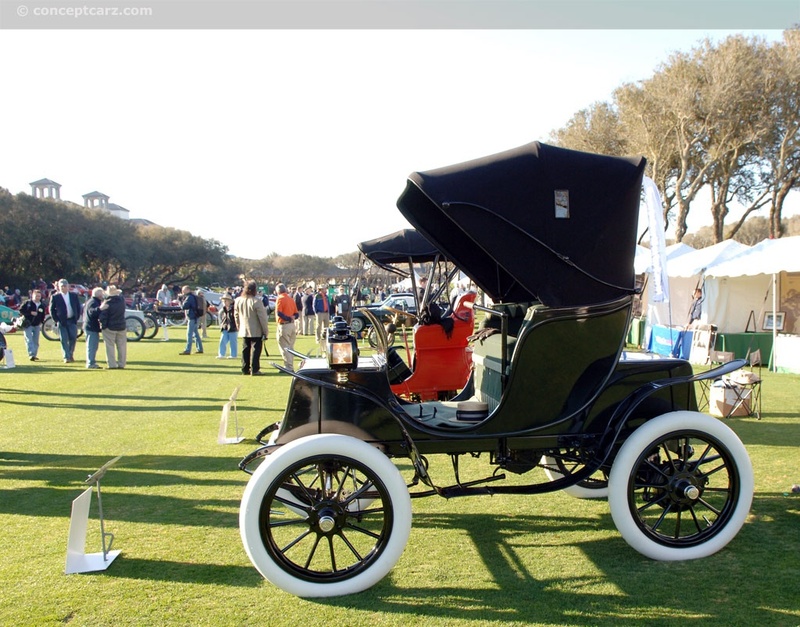 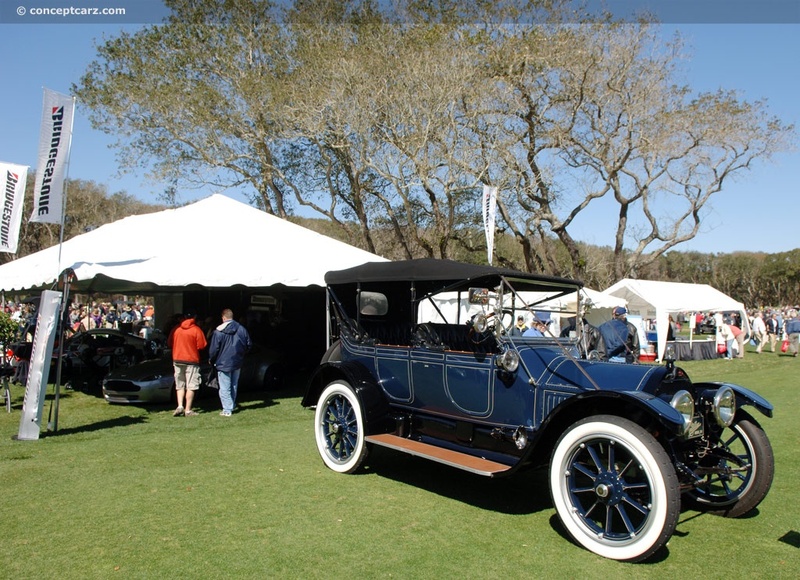 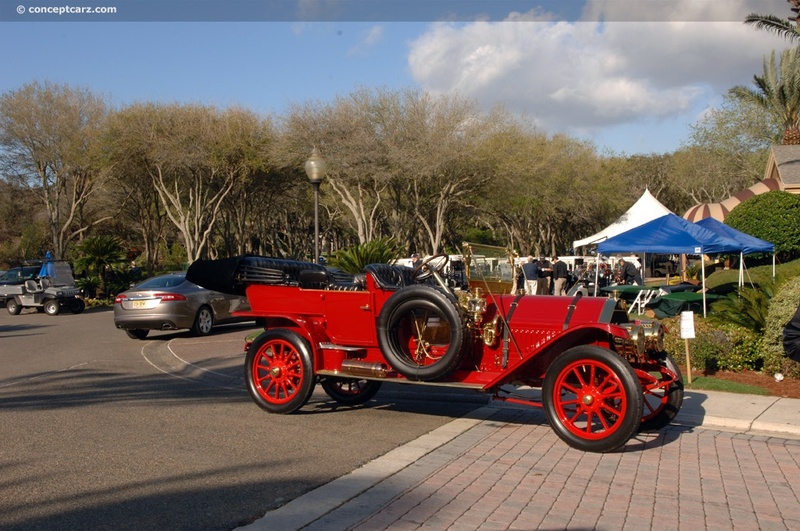 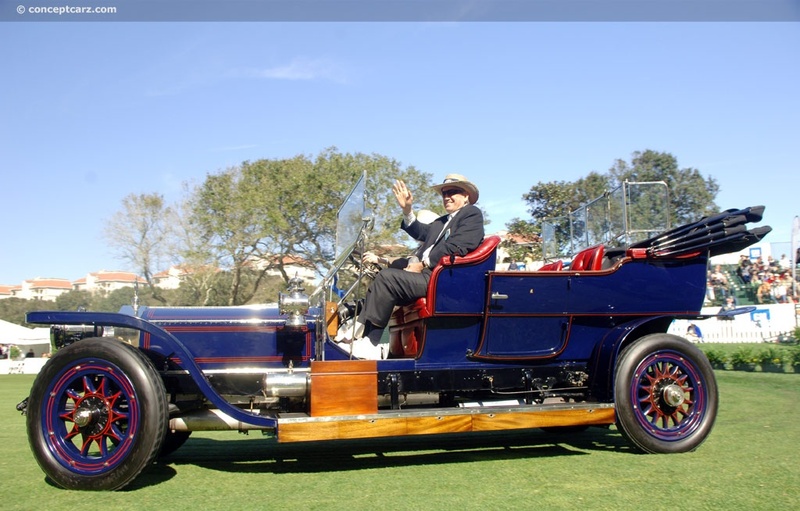 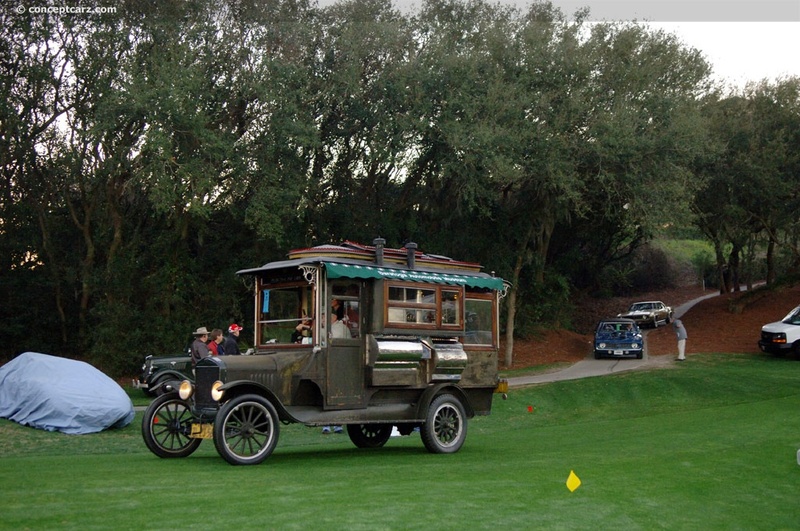 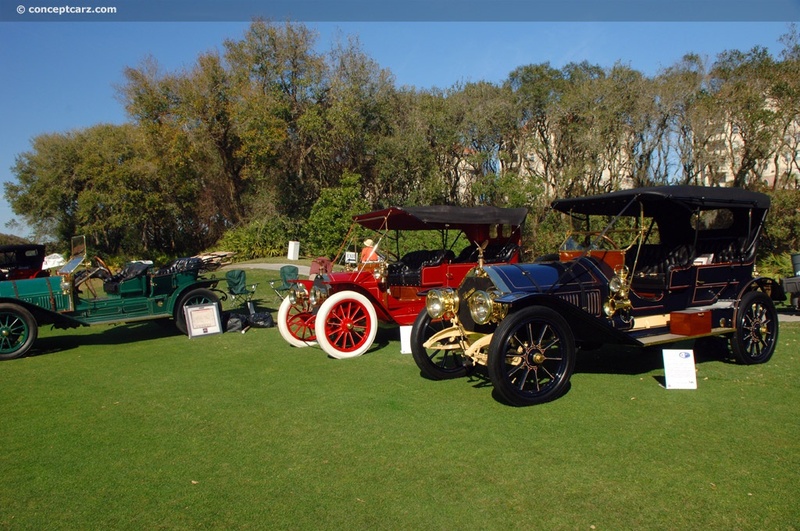 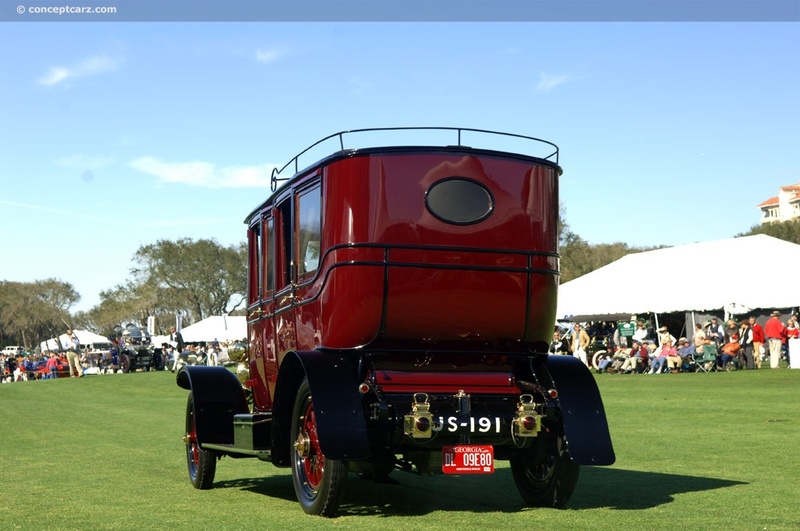 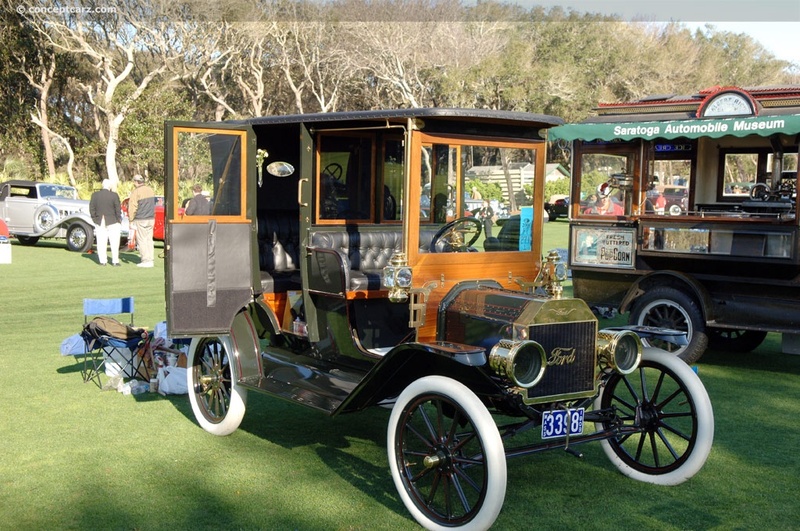 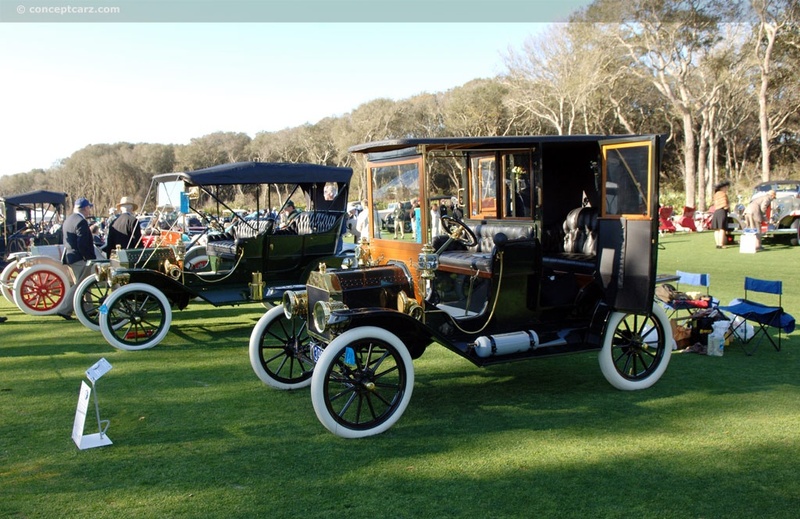 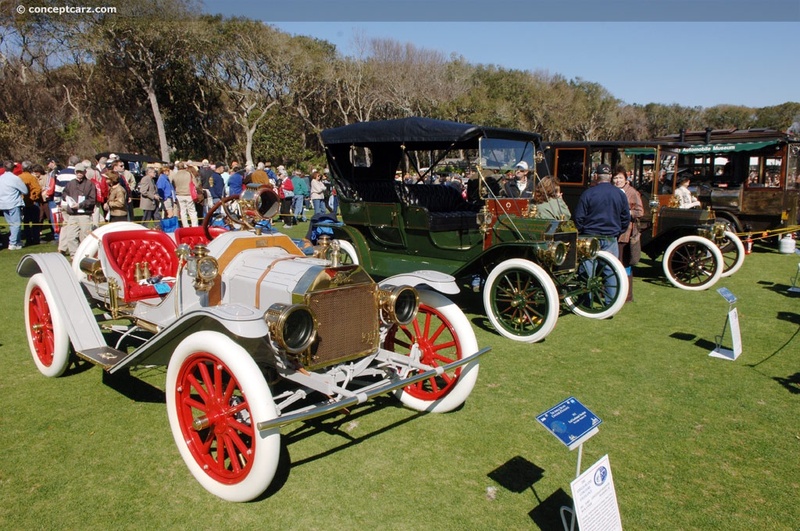 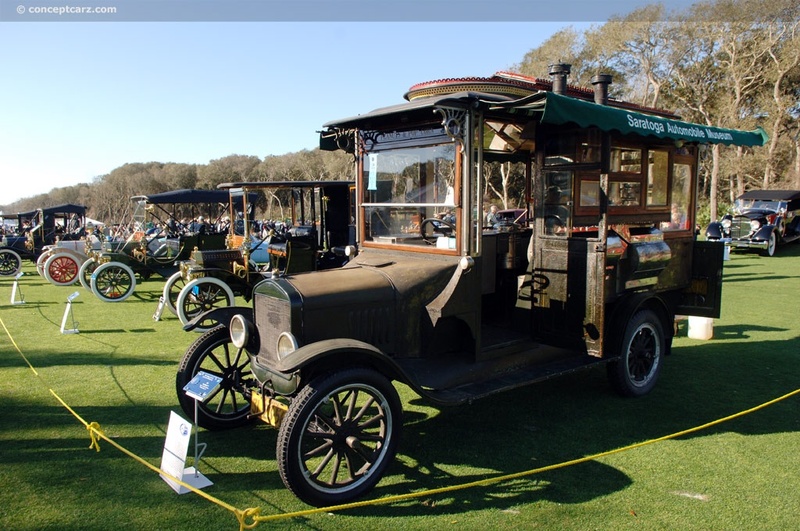 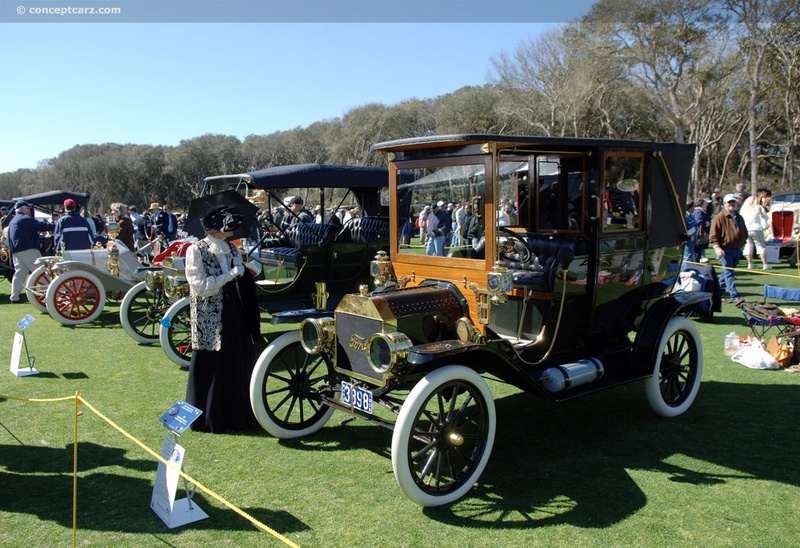 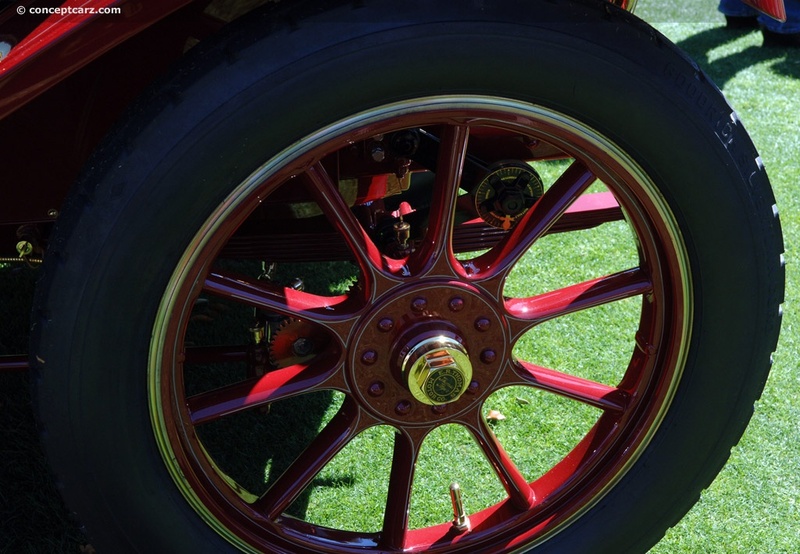 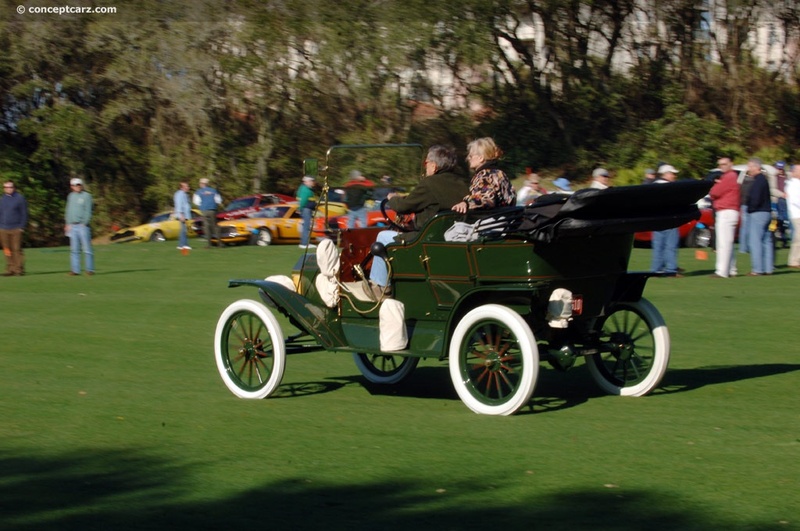 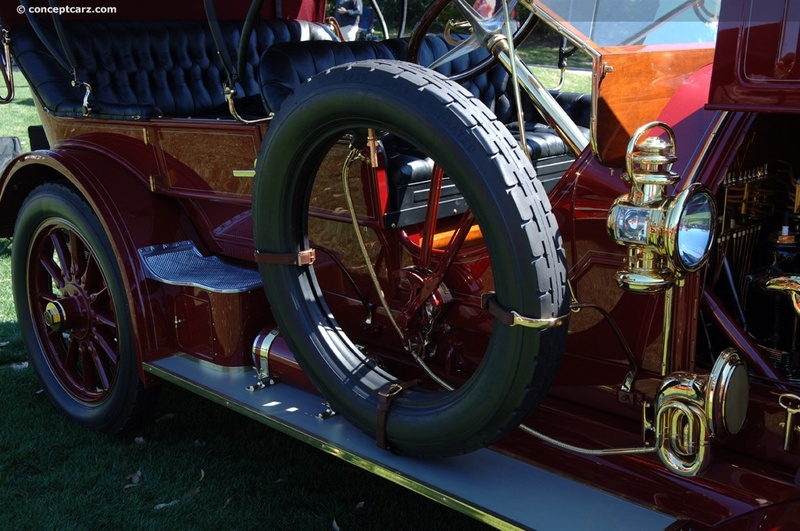 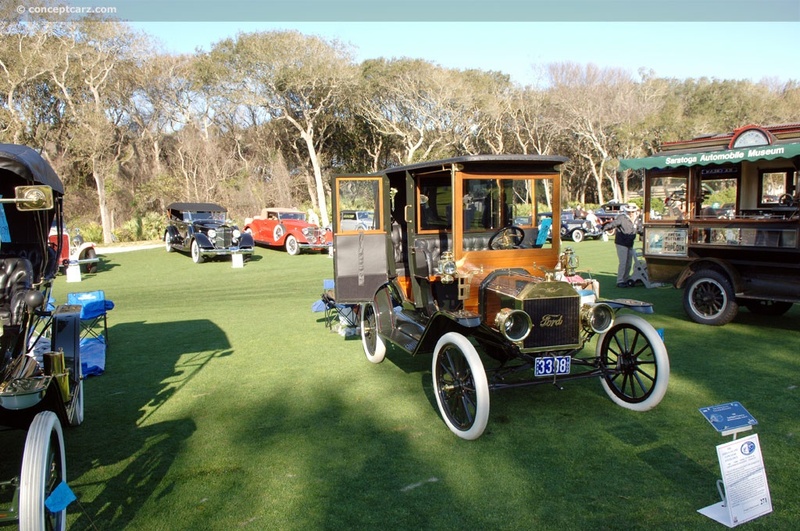 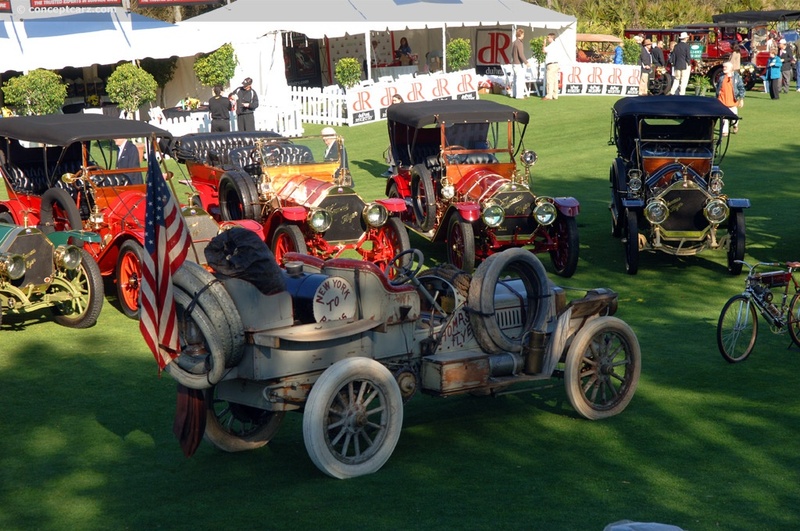 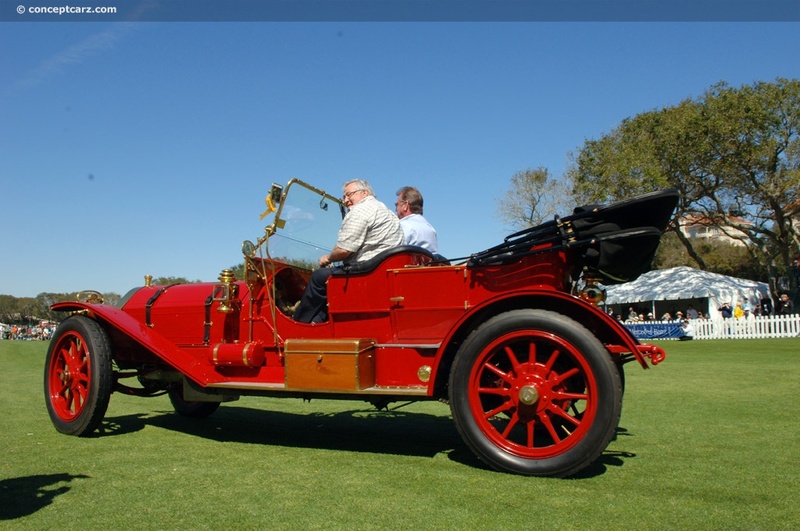 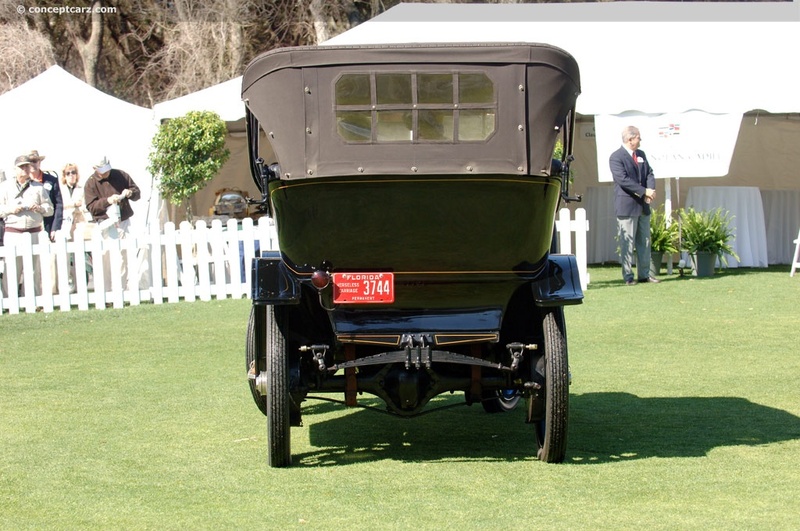 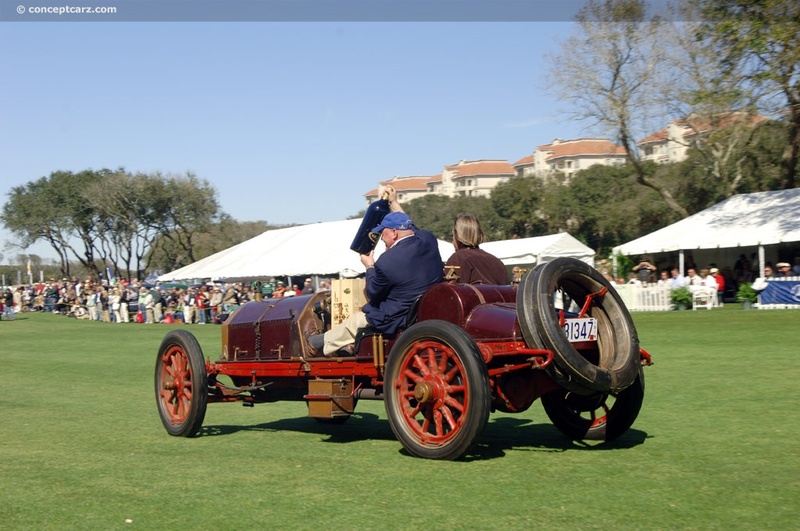 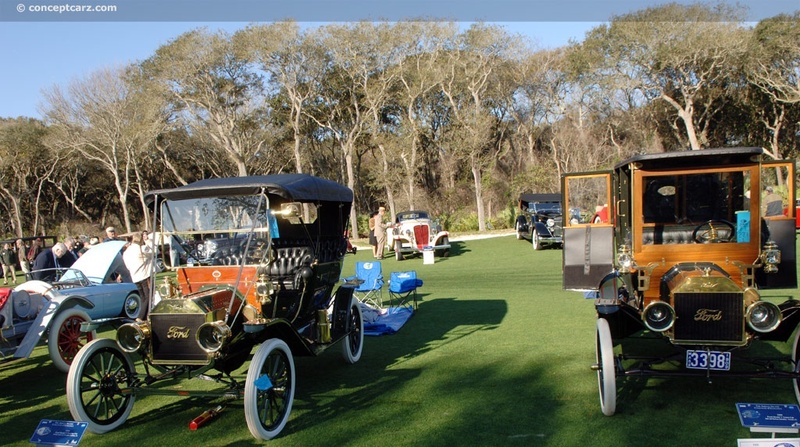 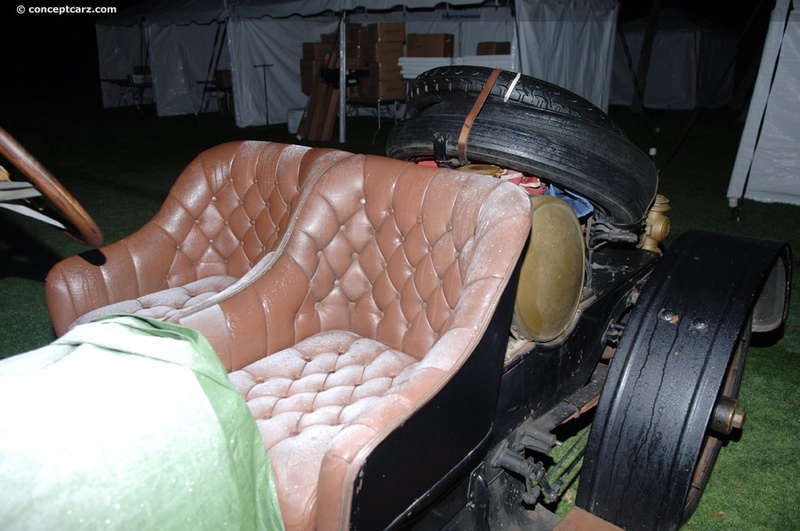 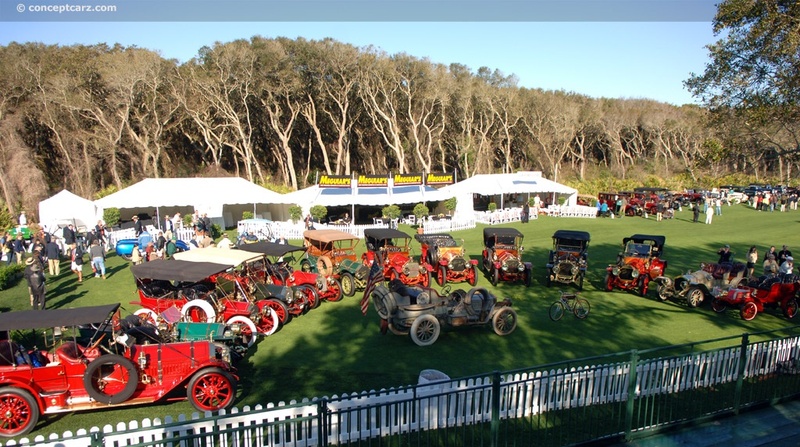 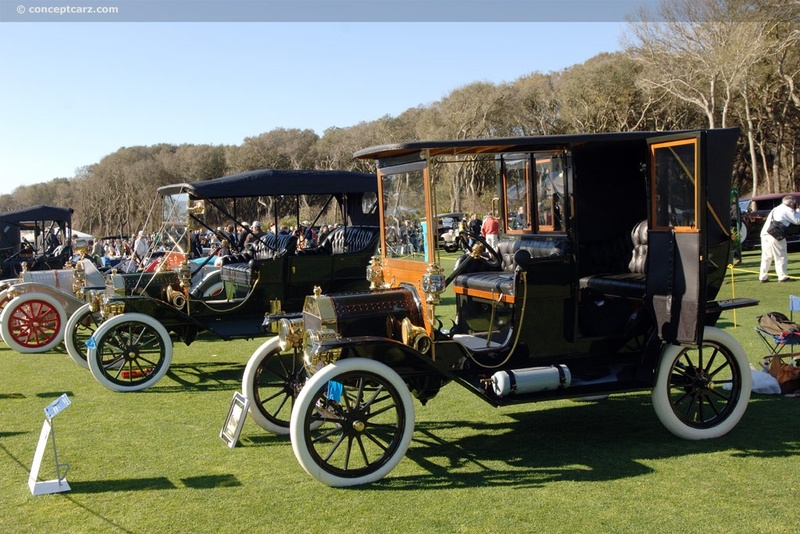 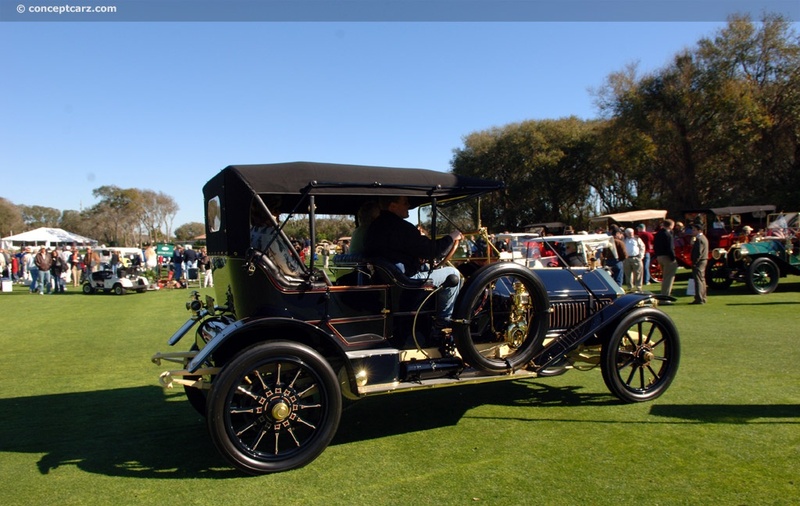 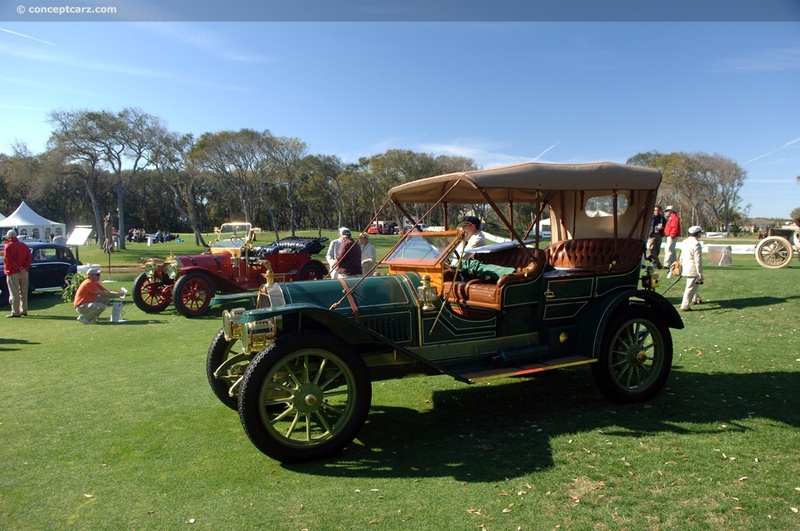 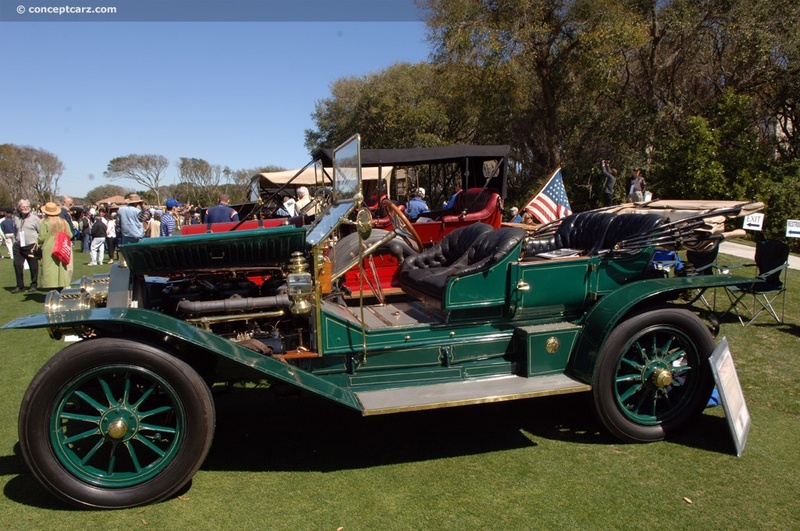 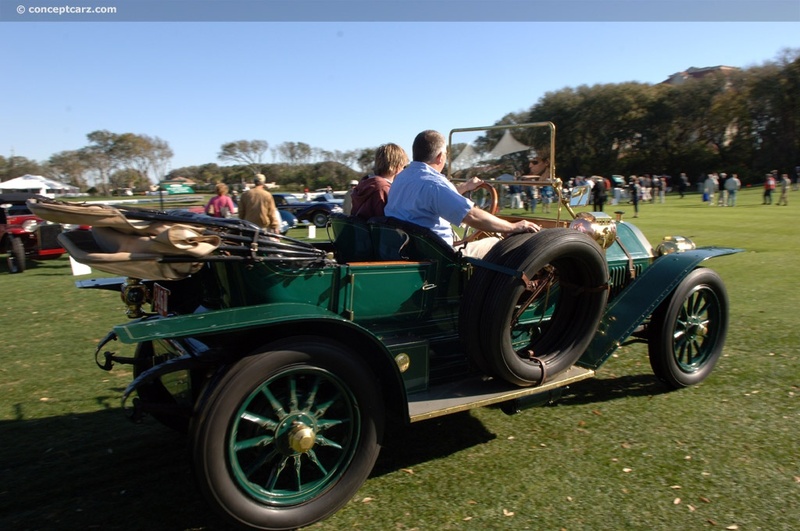 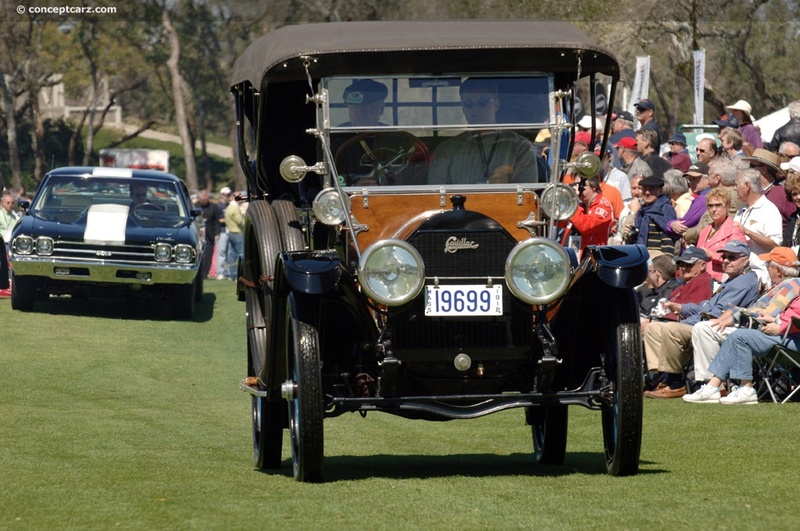 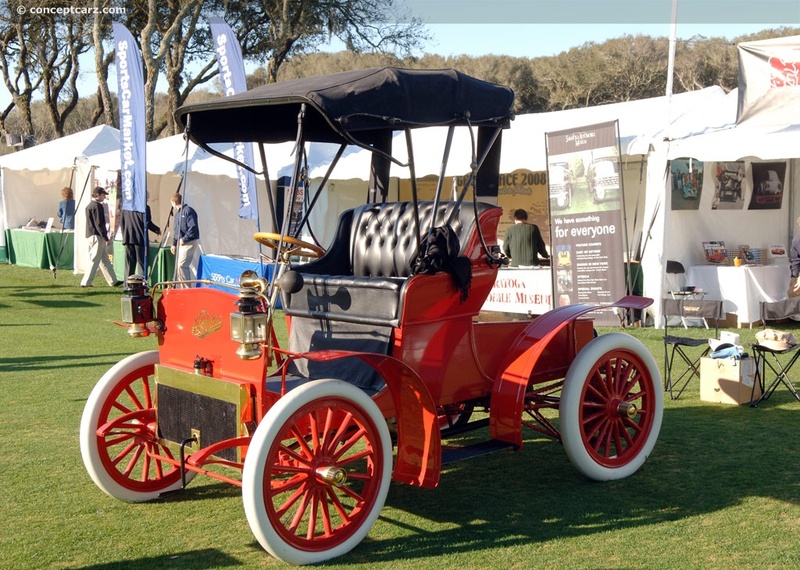 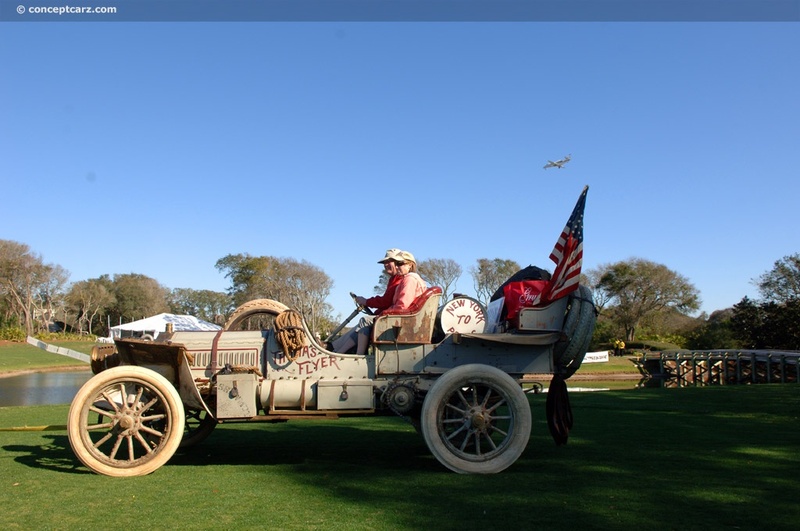 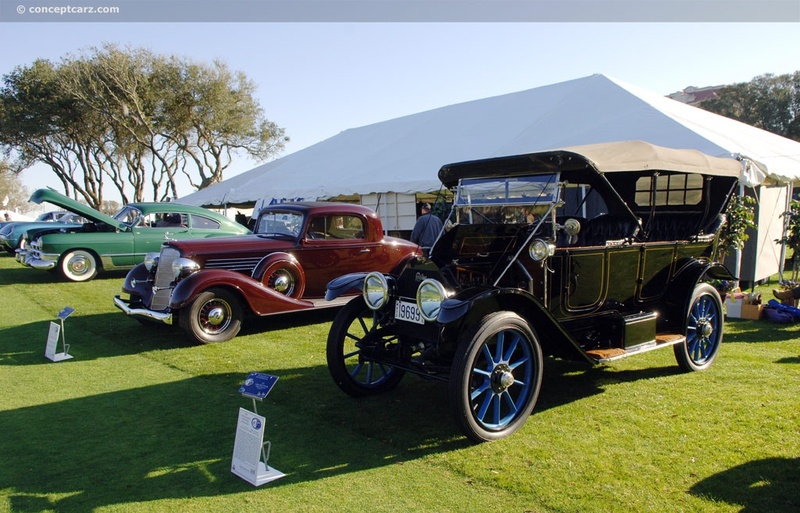 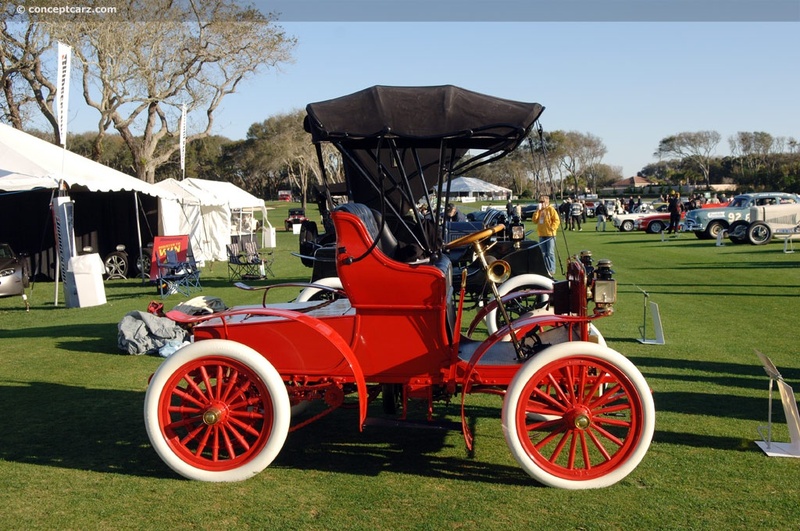 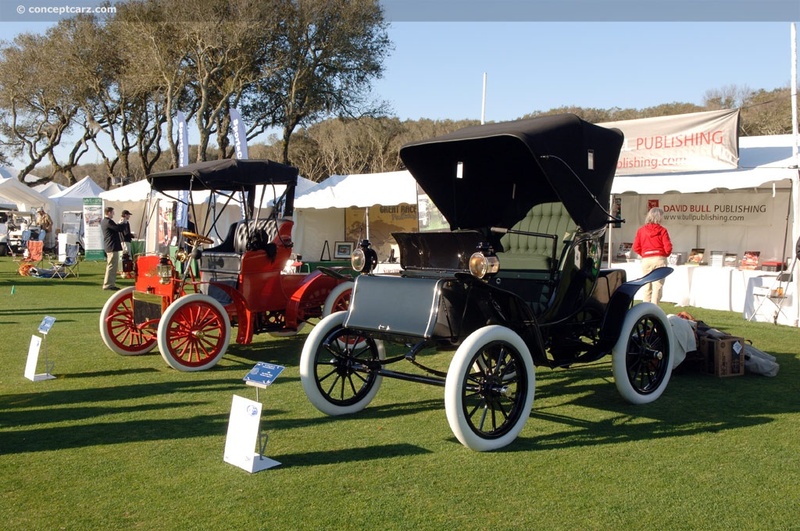 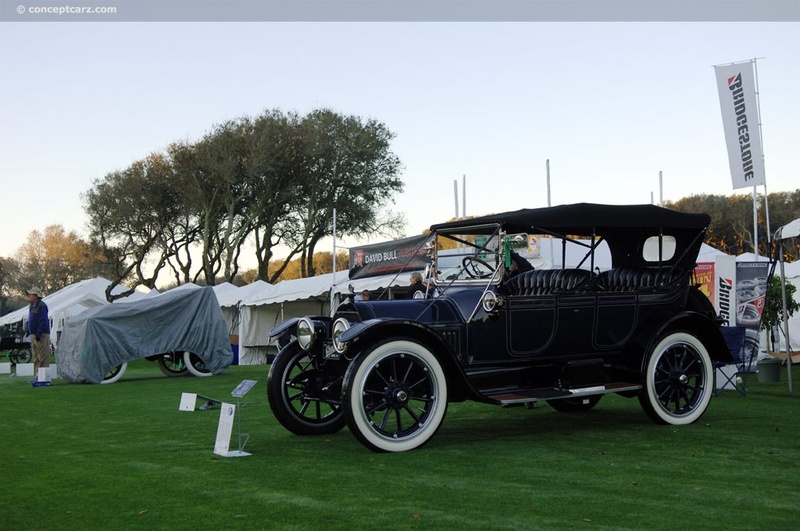 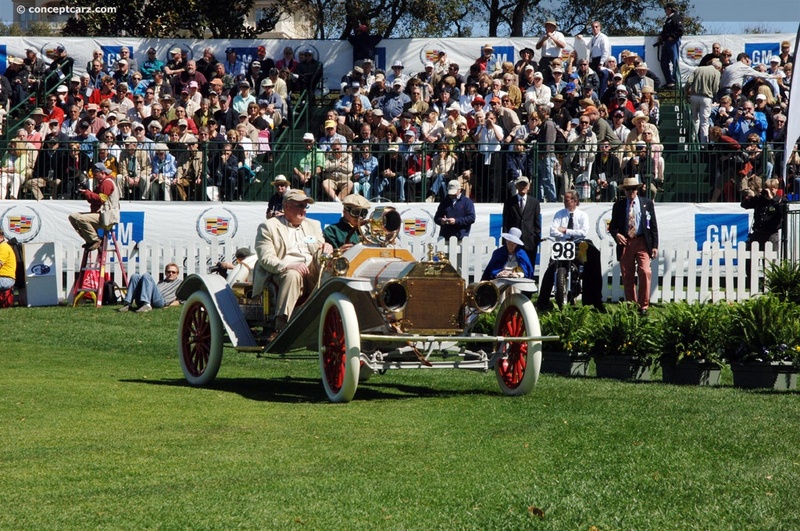 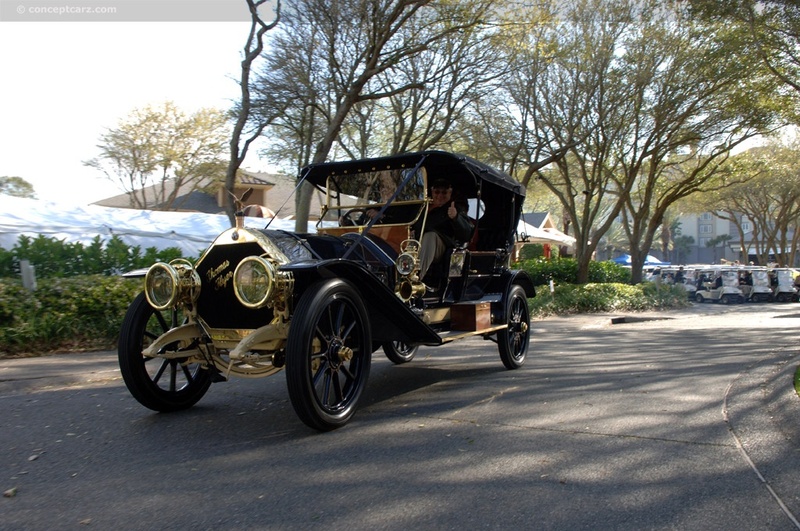 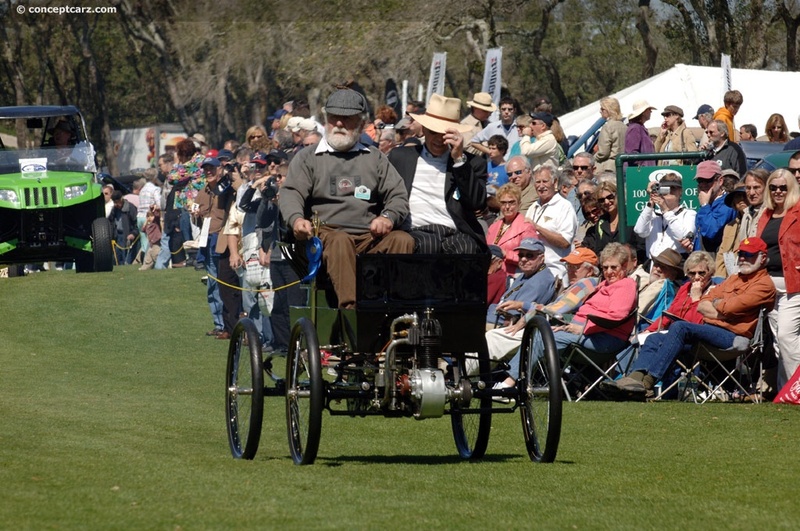 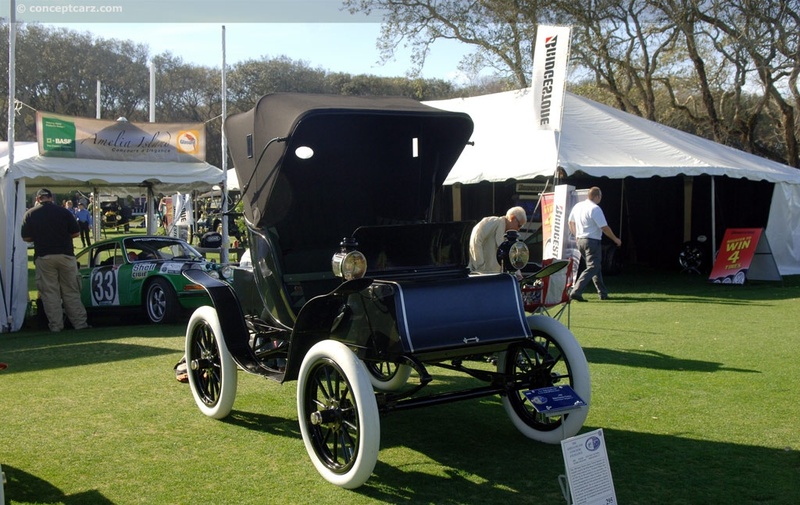 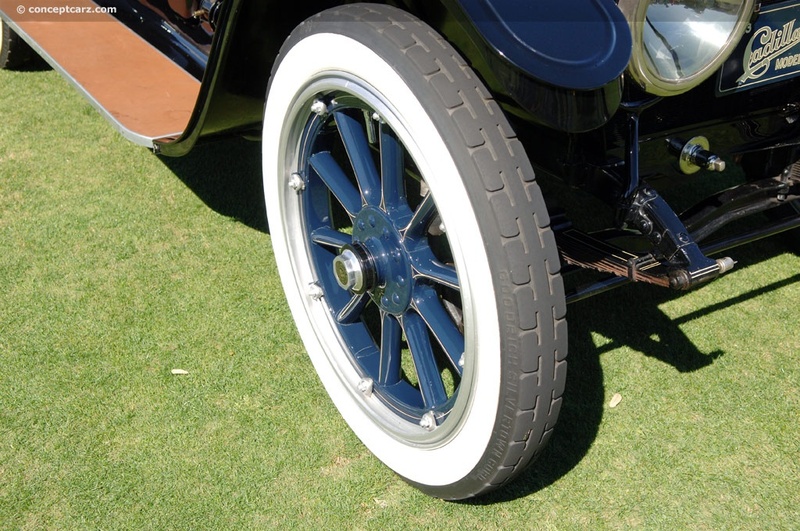 Other noteworthy accomplishments, series, themes or events at the Concours included the 100th anniversary of General Motors and the centennial celebration of the Ford Model T. The largest gathering of Thomas Flyers ever assembled, (since the company went out of business in the early 1910s), were prominently featured throughout the weekend. 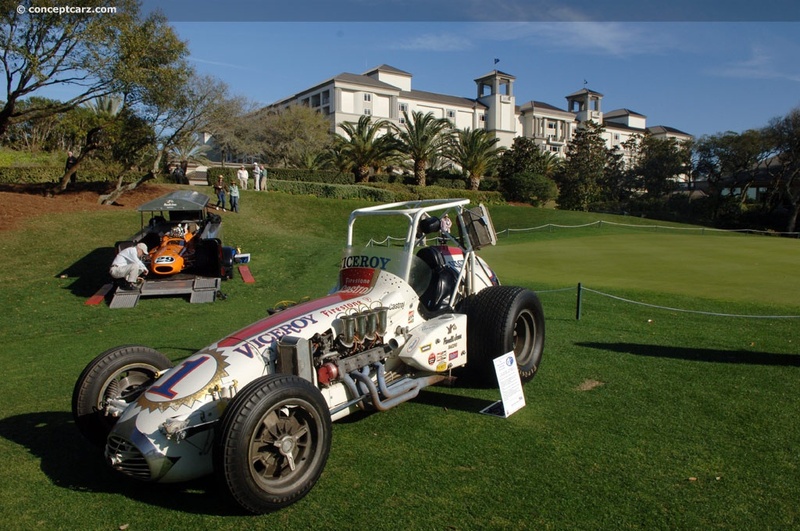 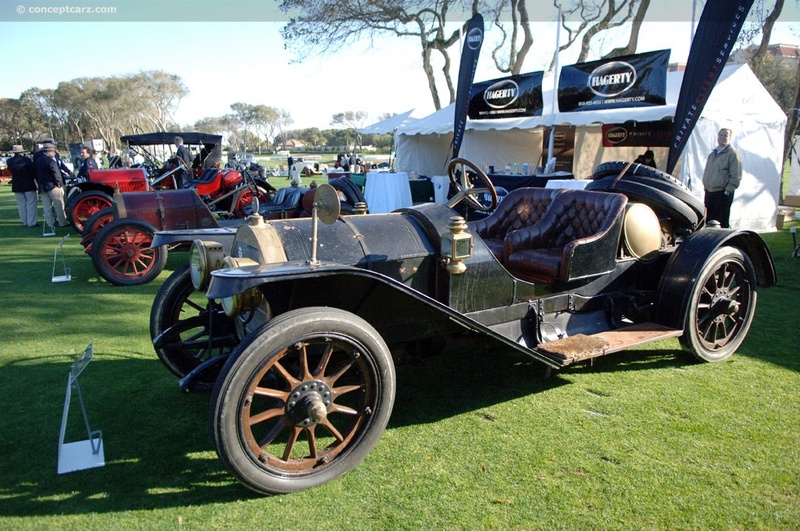 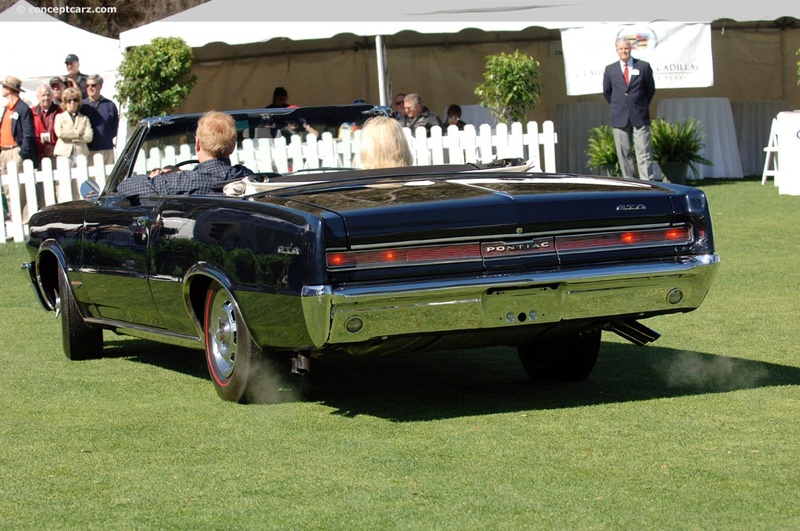 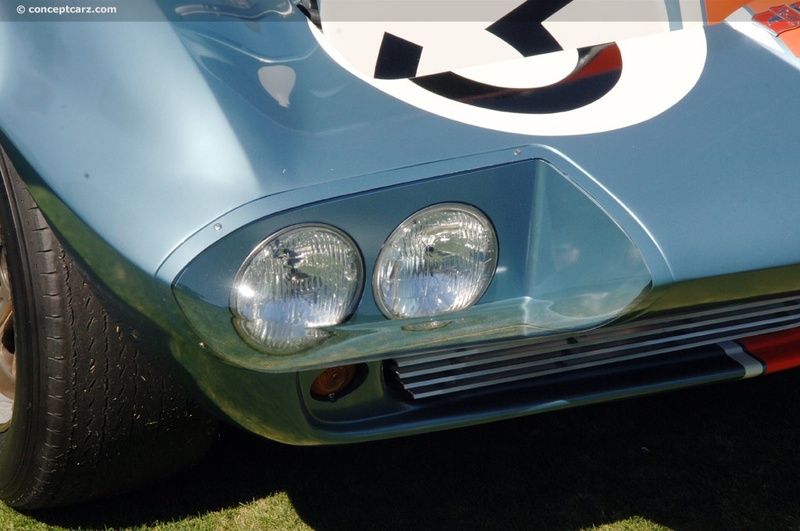 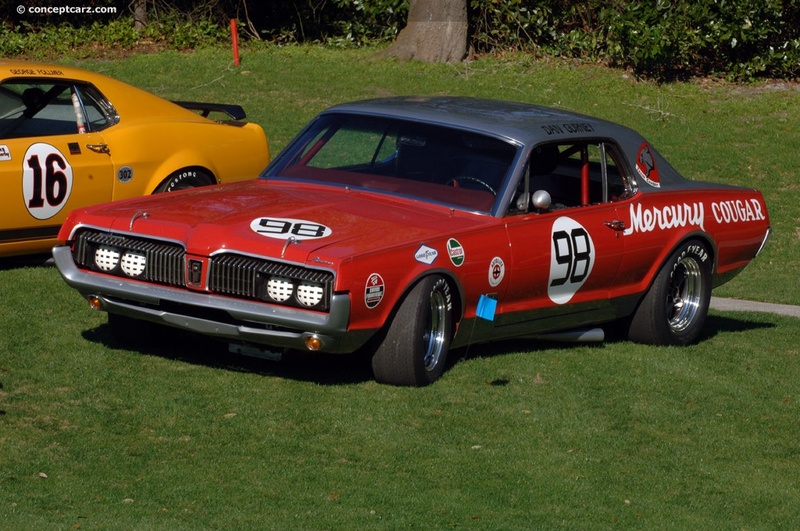 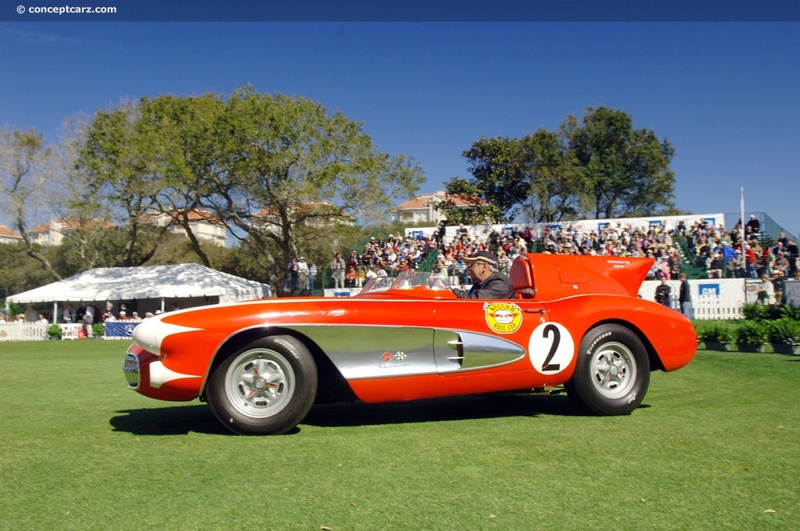 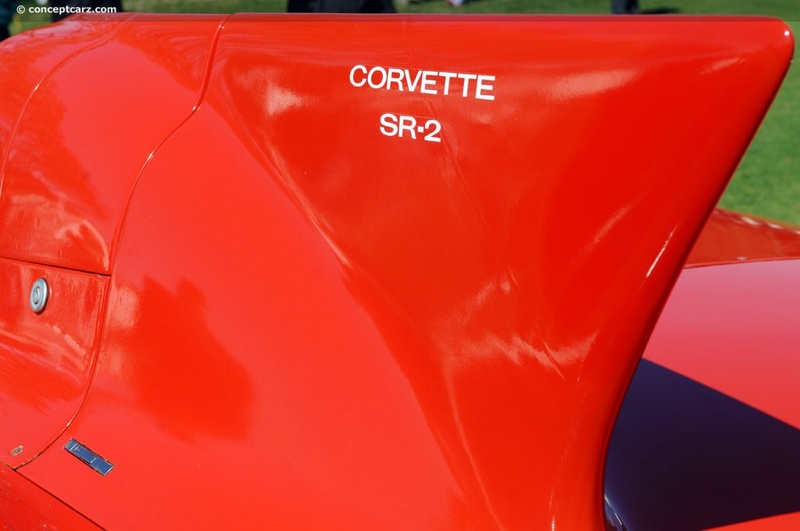 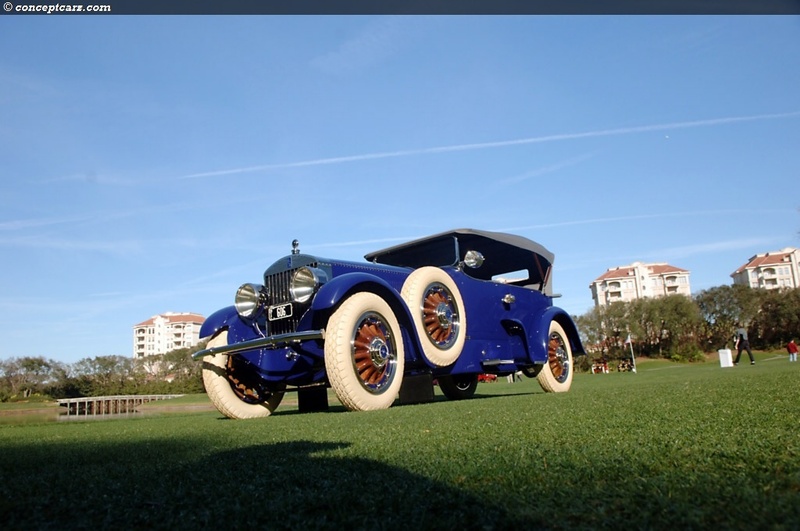 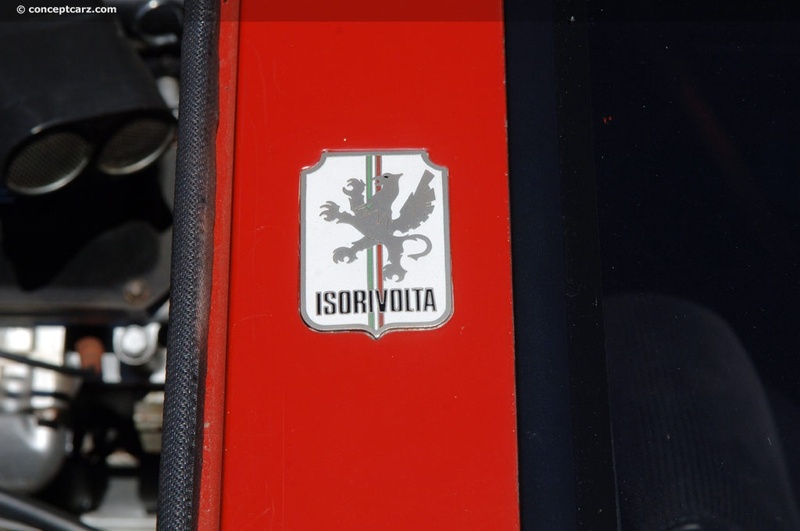 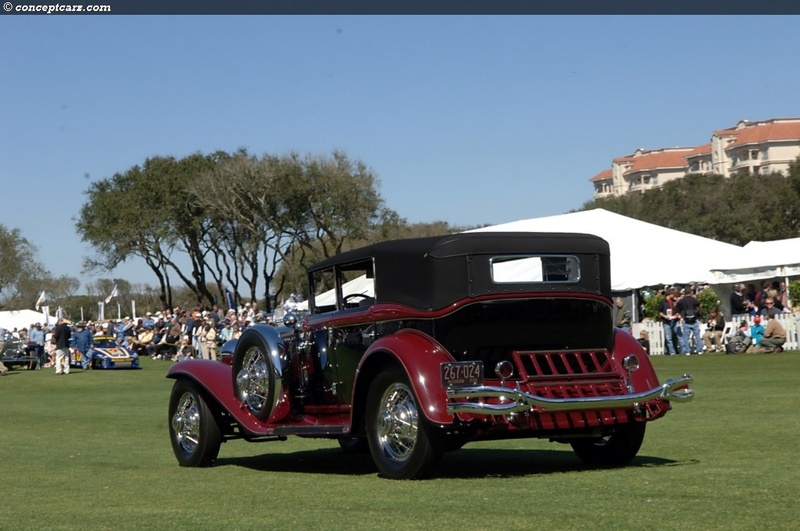 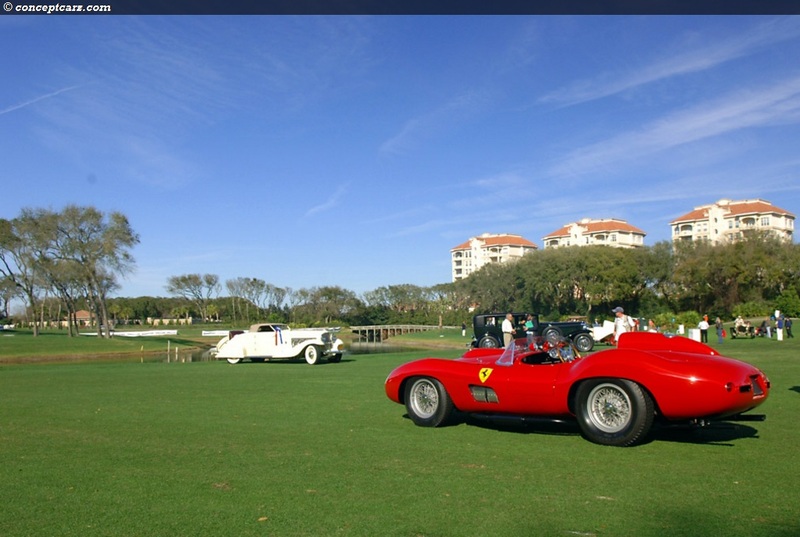 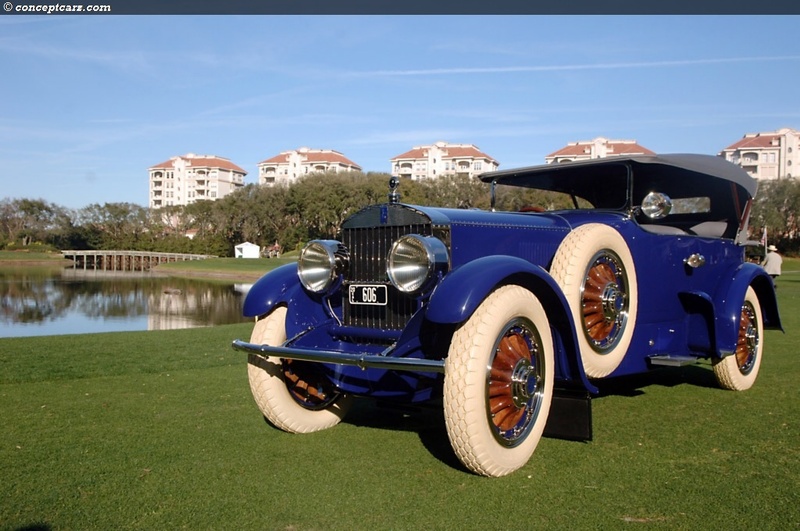 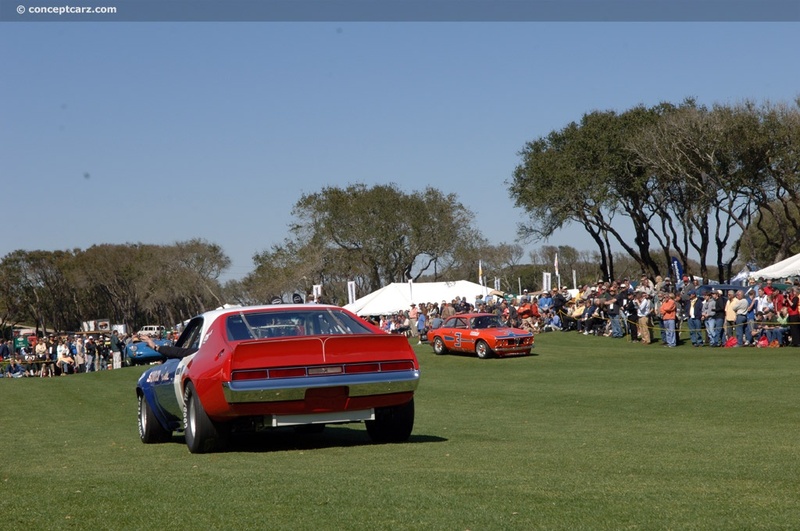 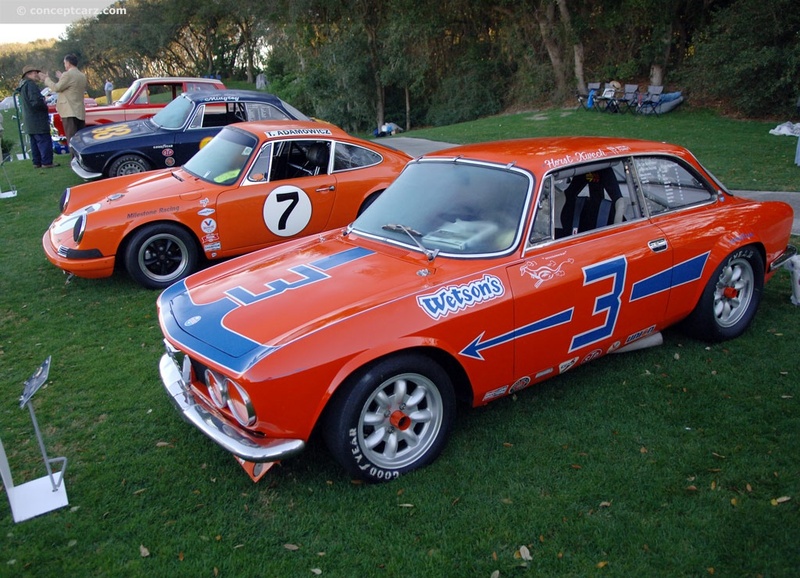 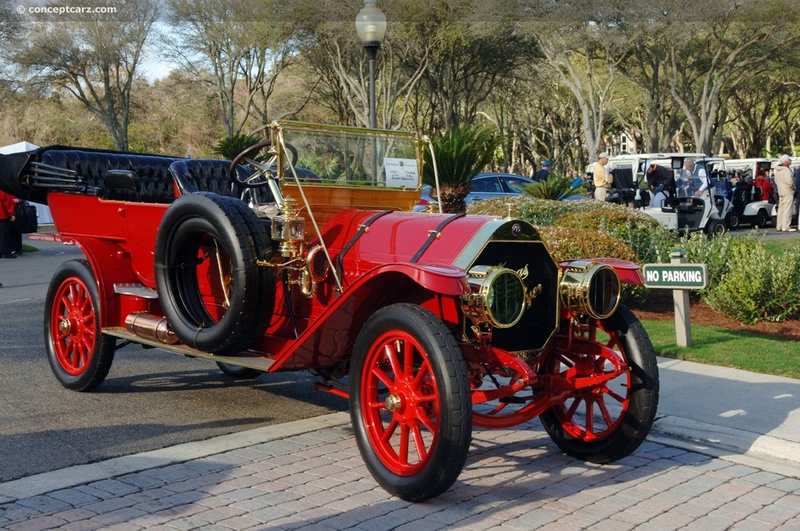 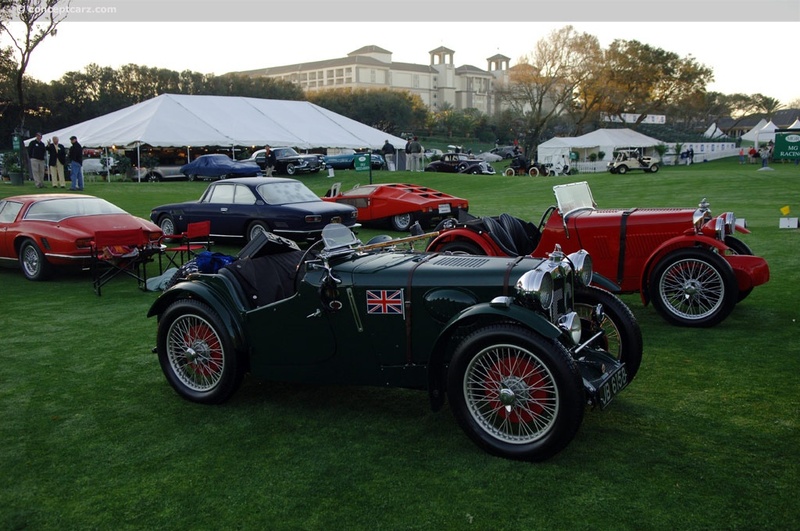 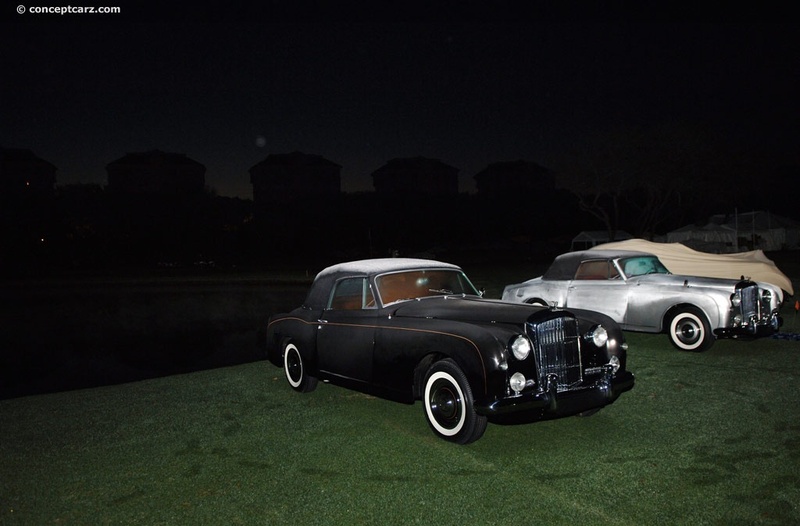 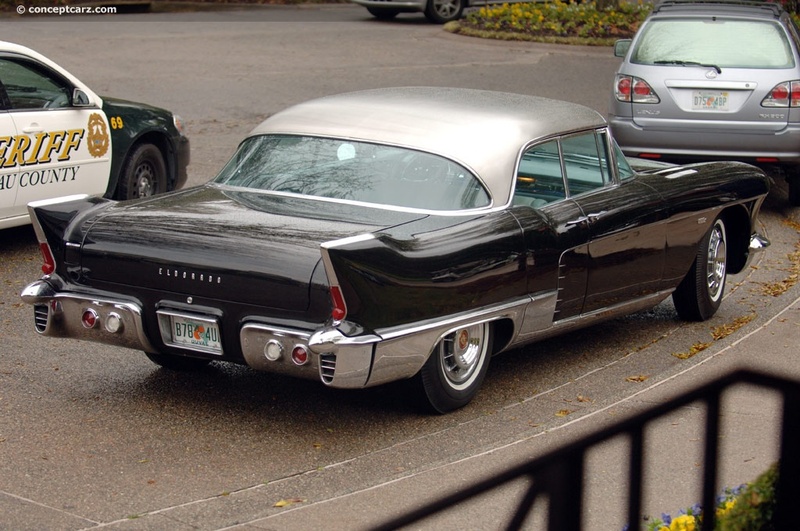 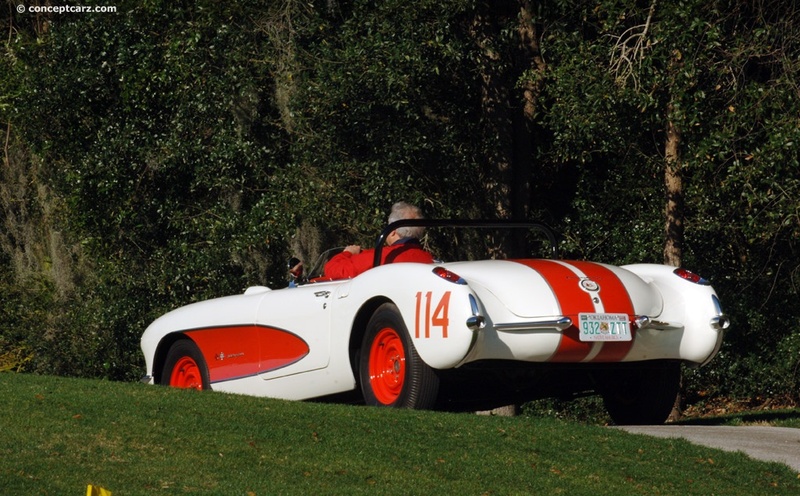 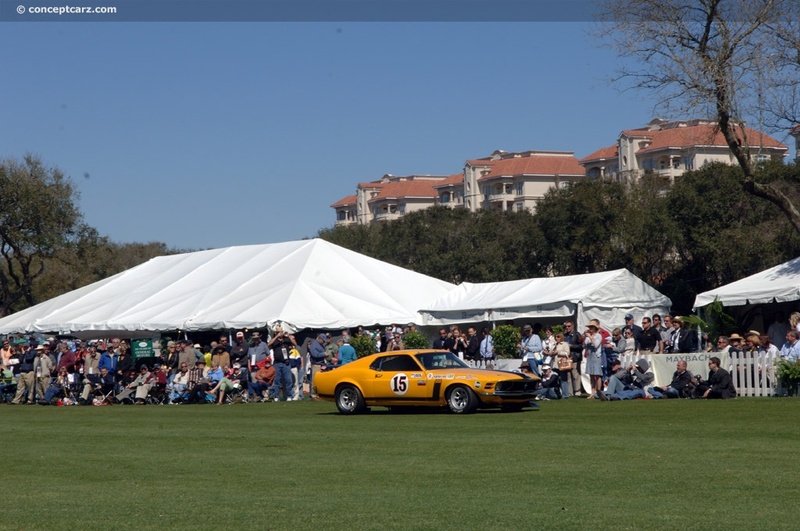 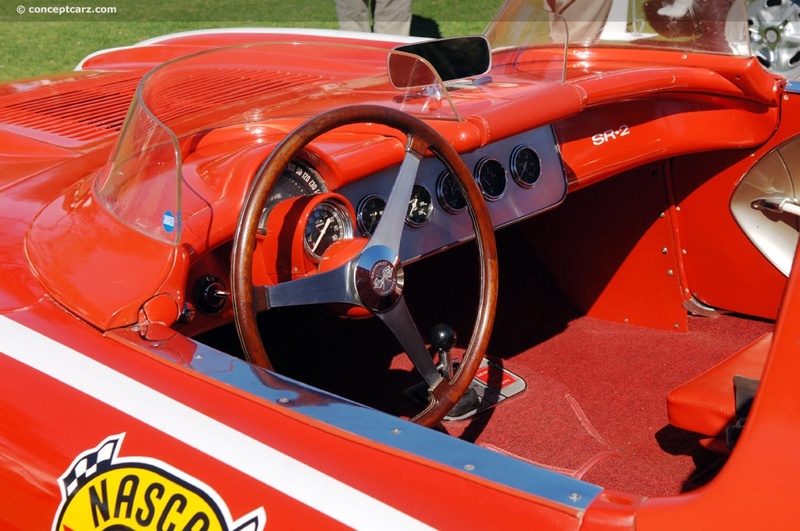 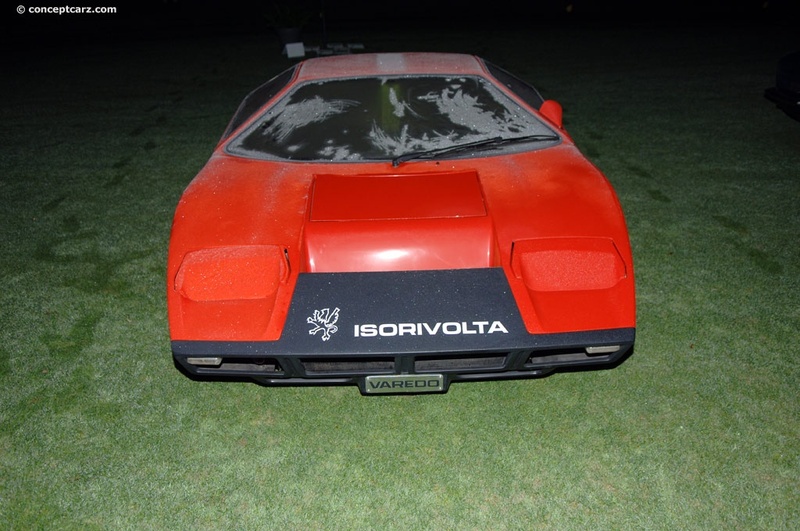 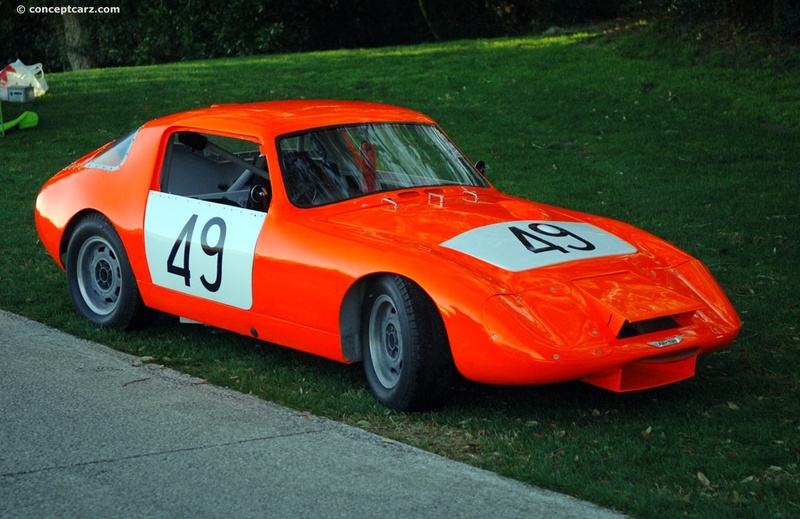 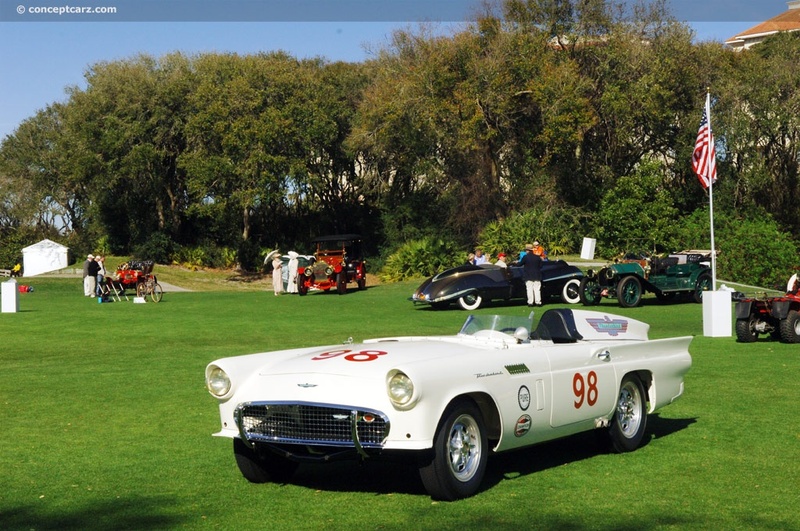 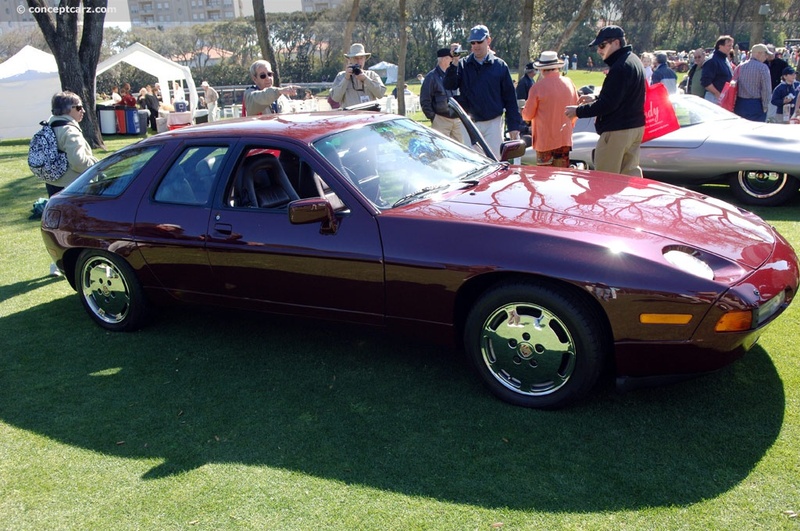 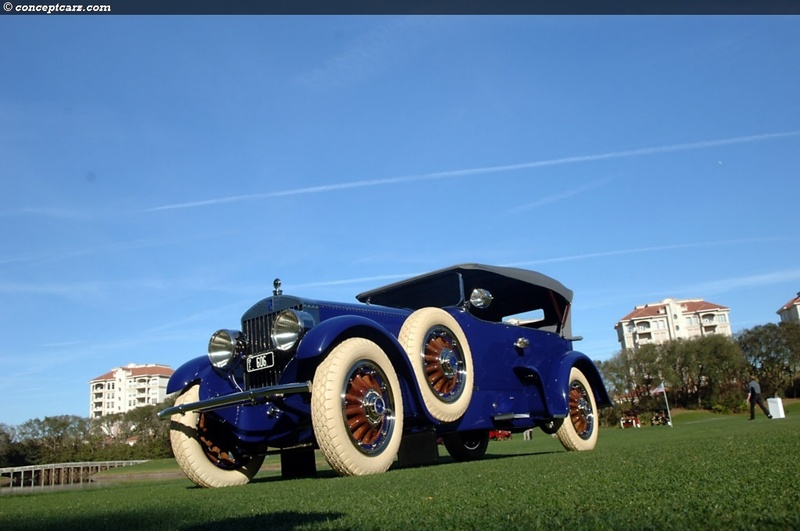 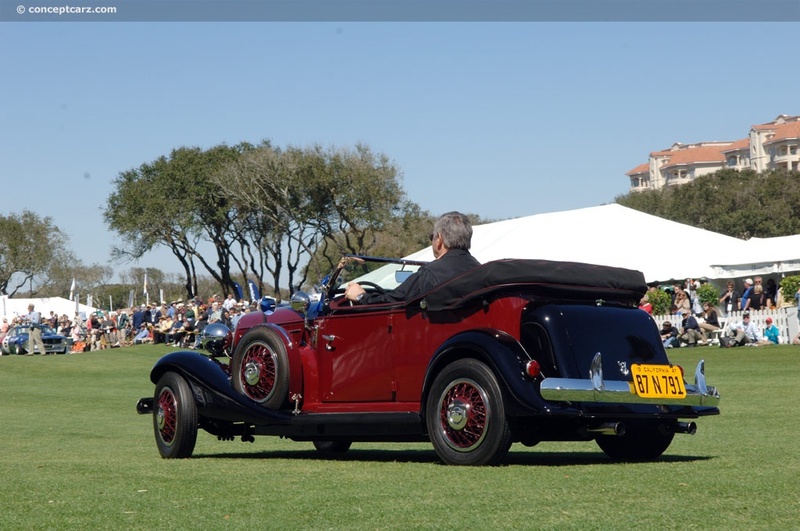 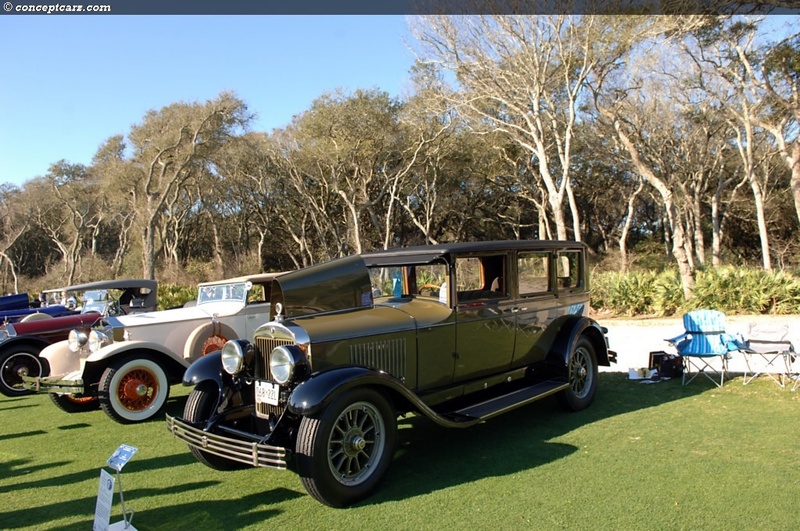 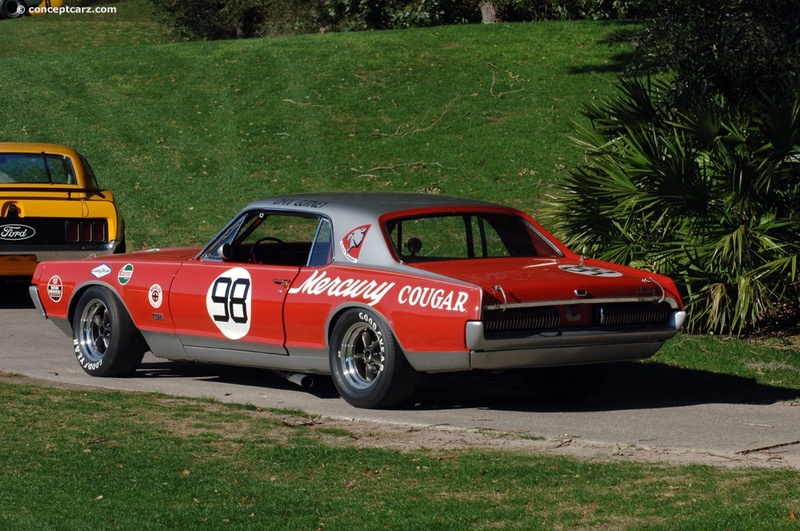 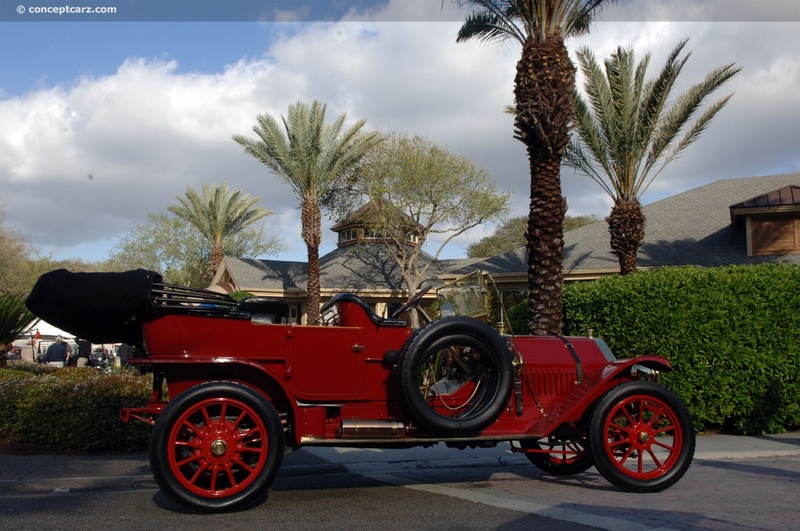 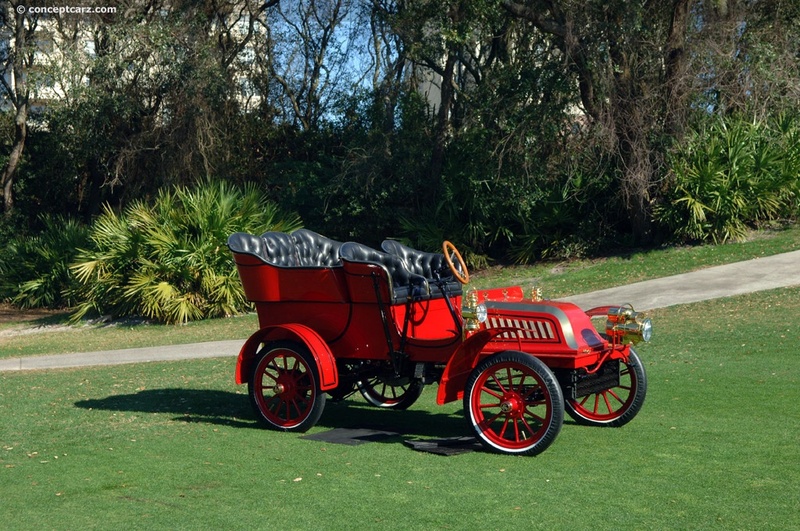 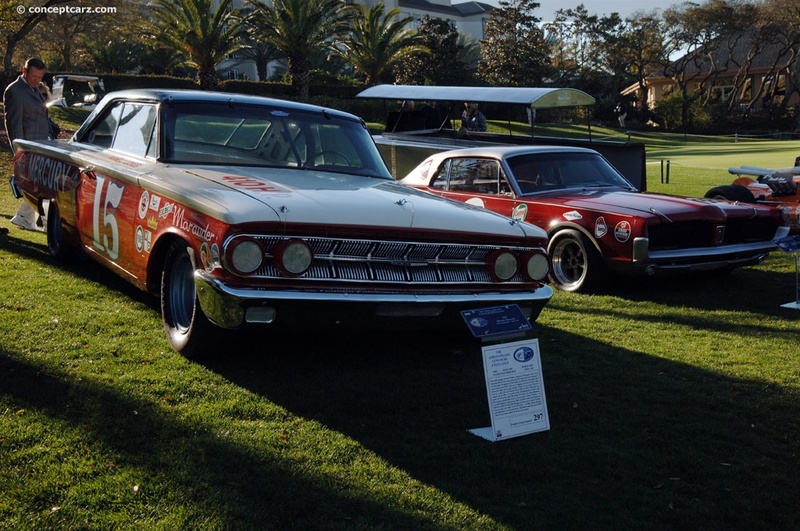 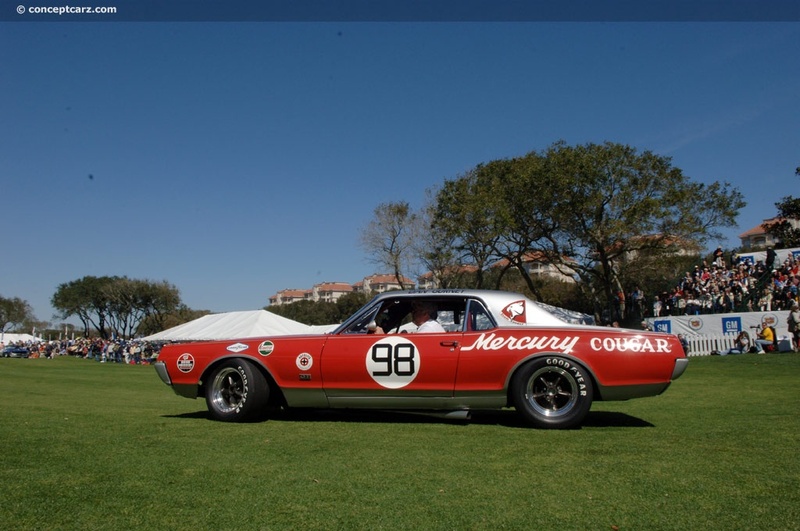 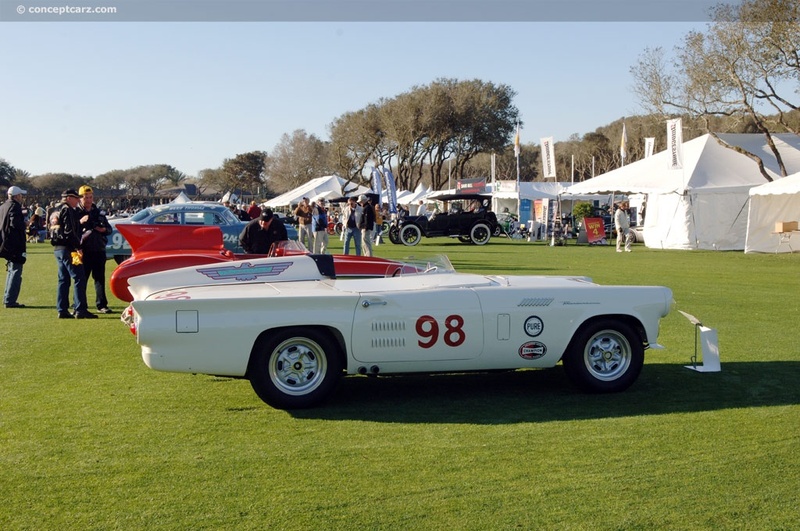 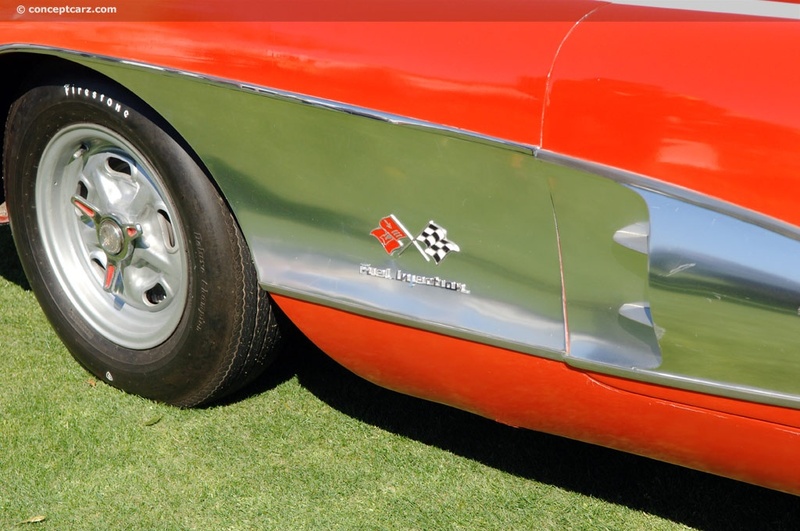 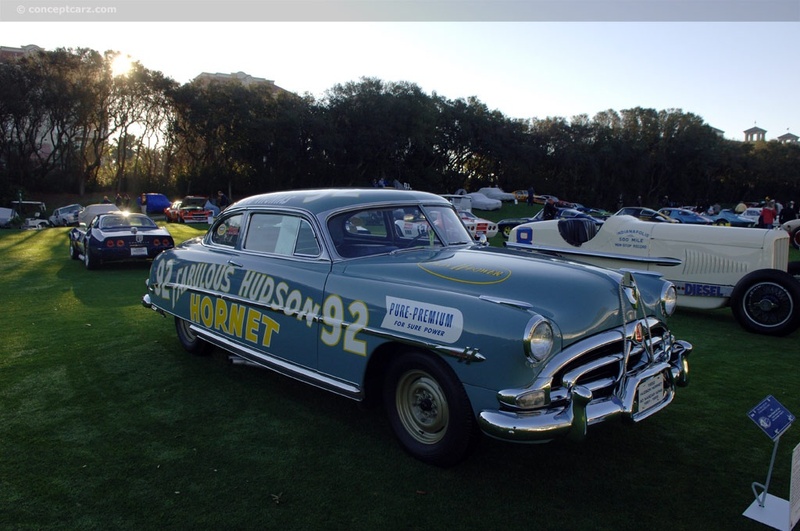 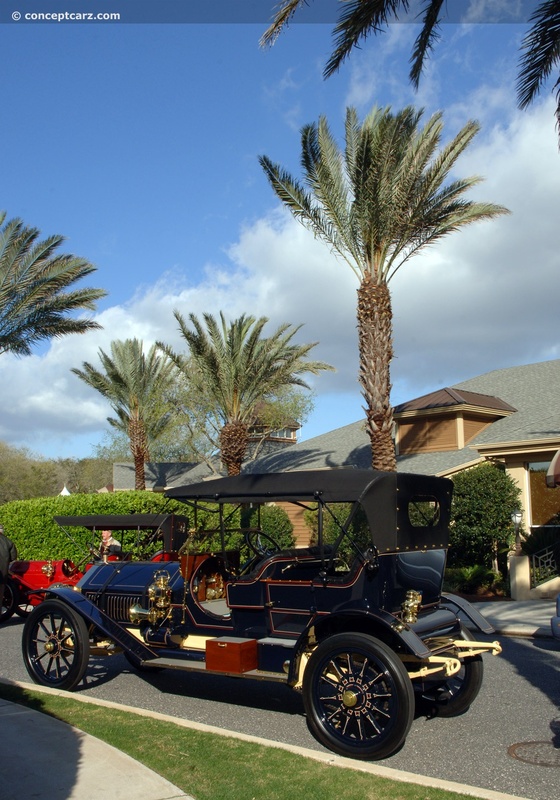 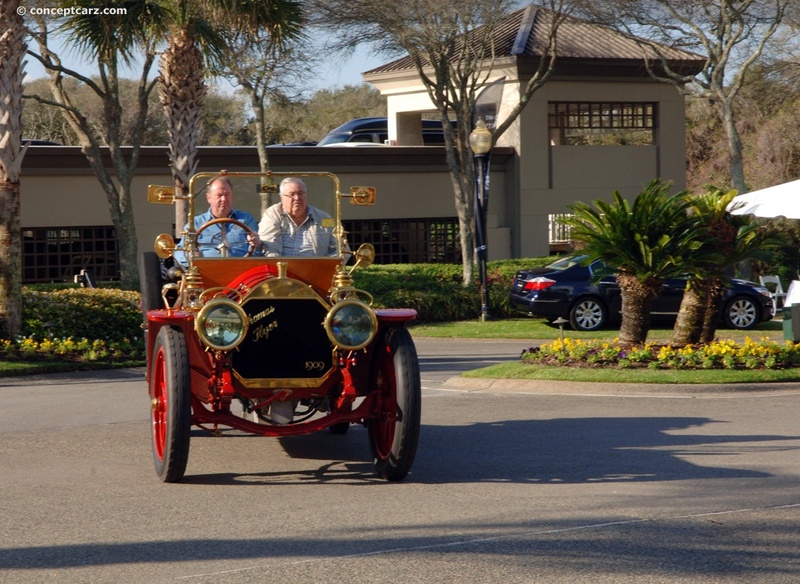 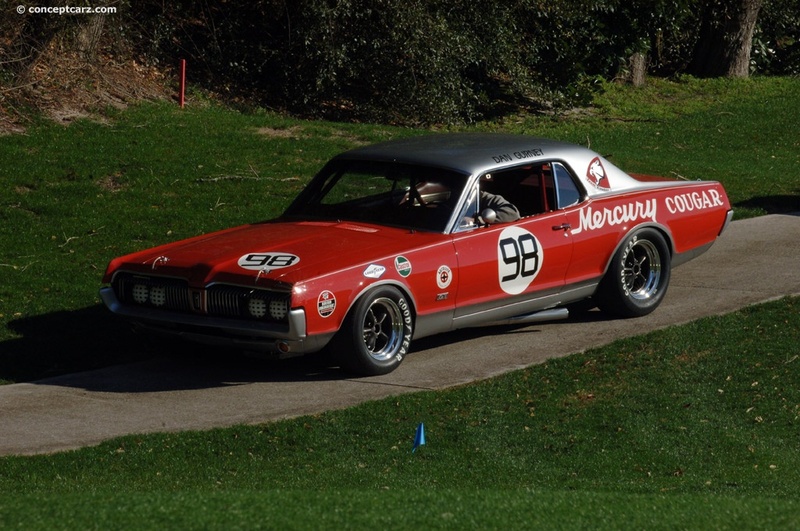 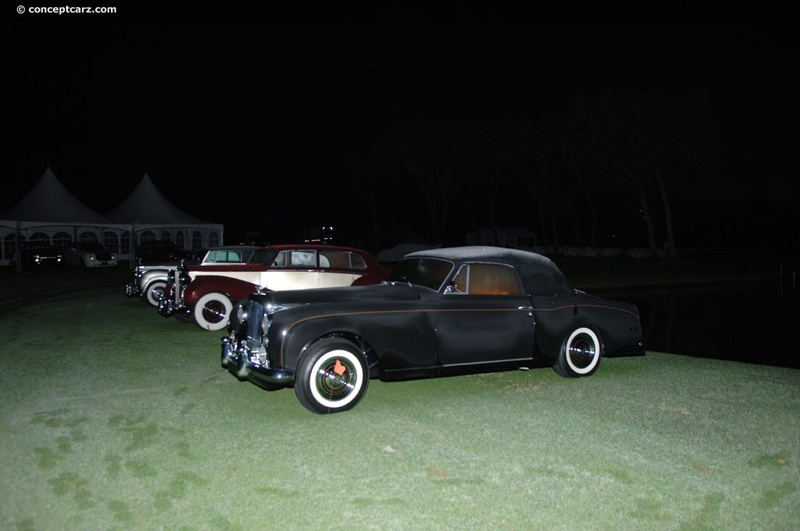 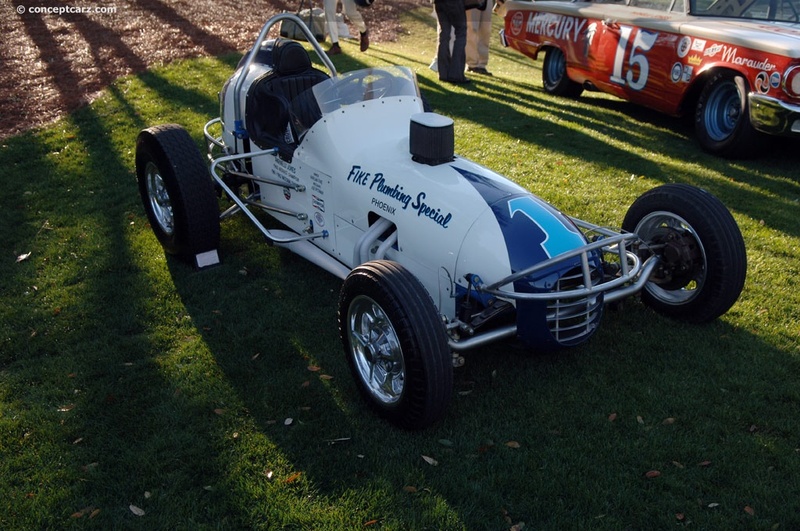 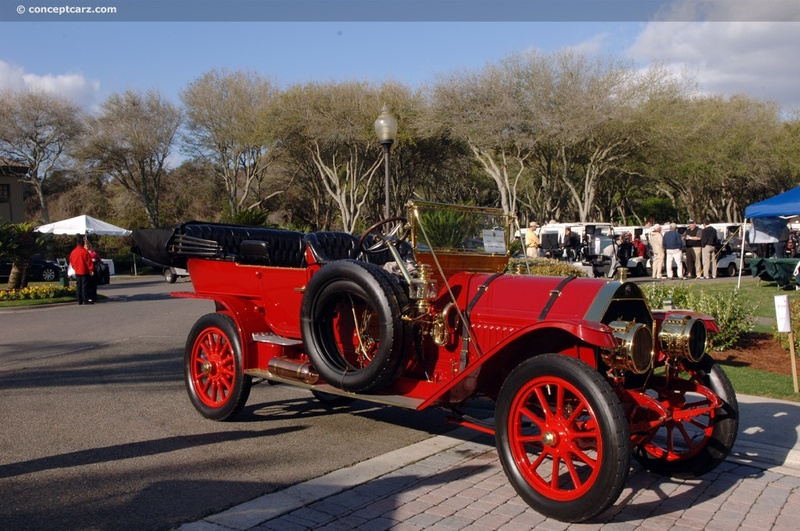 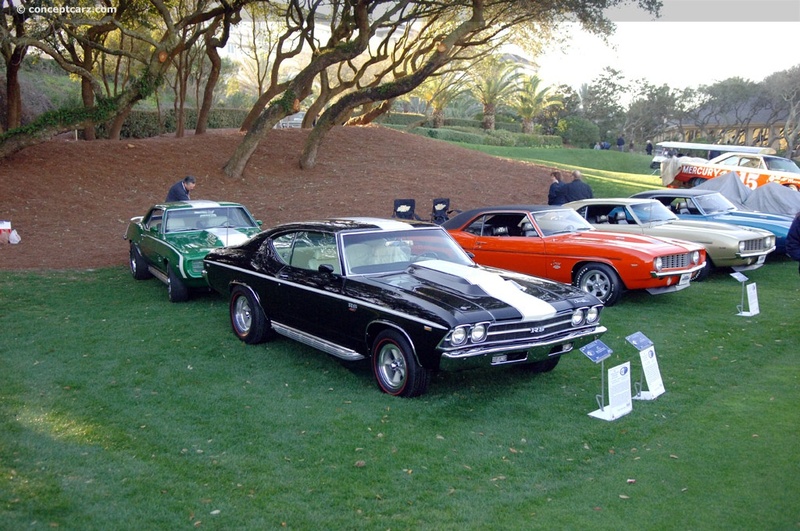 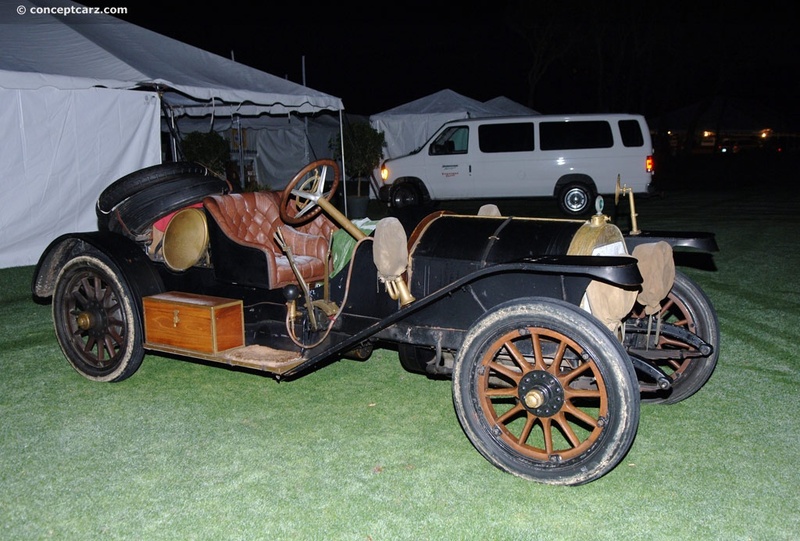 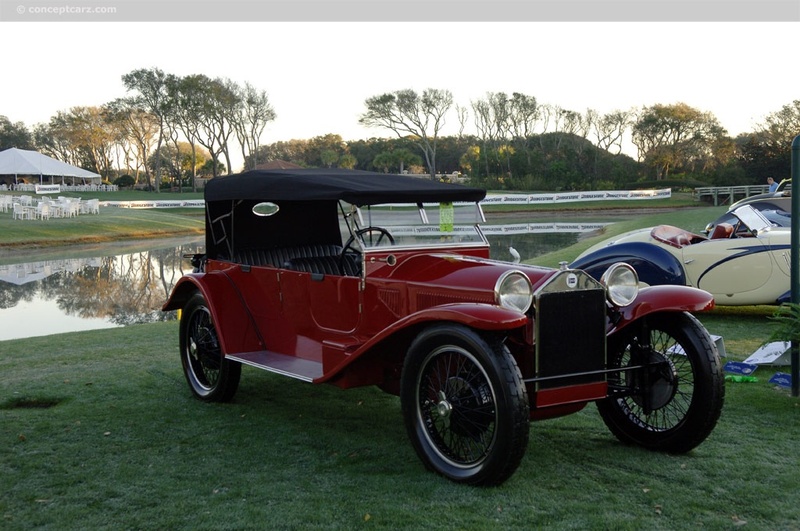 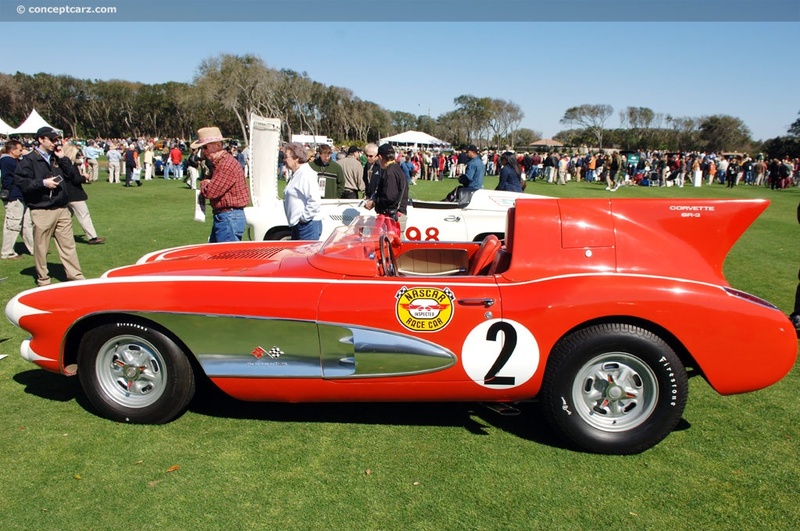 The Concours celebrated the cars of the TransAm Series and the pioneer cars that raced at the Ormond and Daytona Beach during the dawn of motorsports. 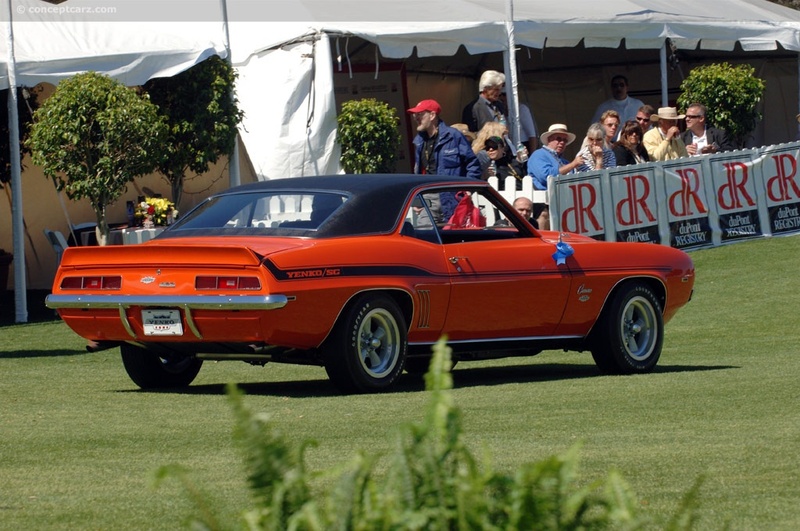 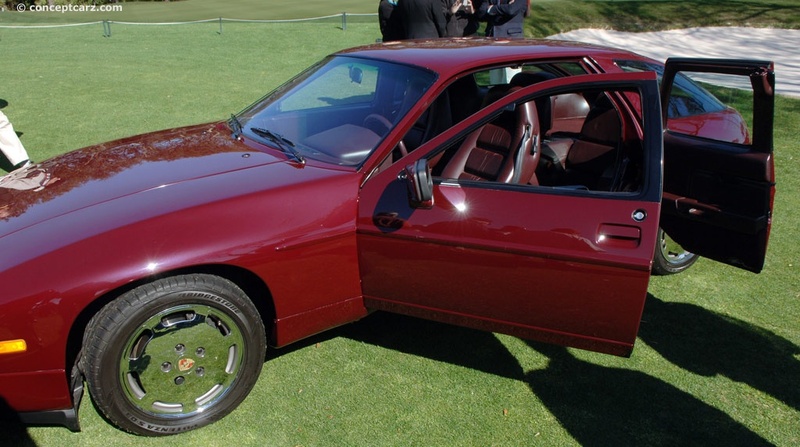 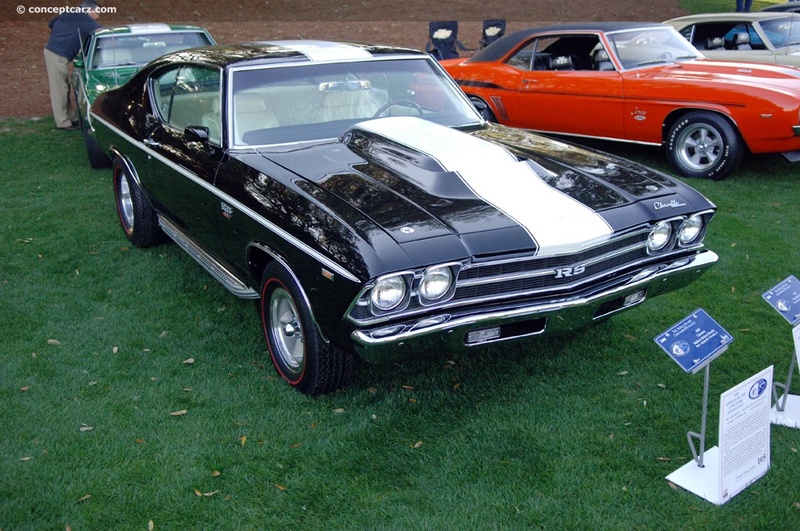 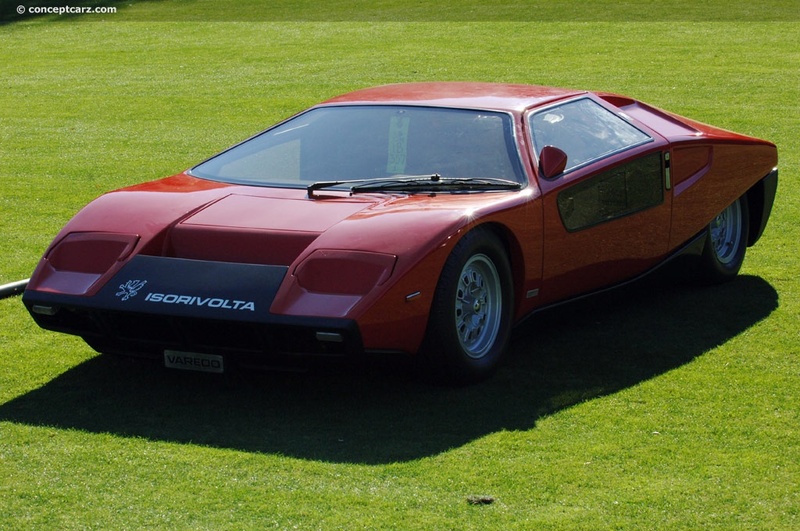 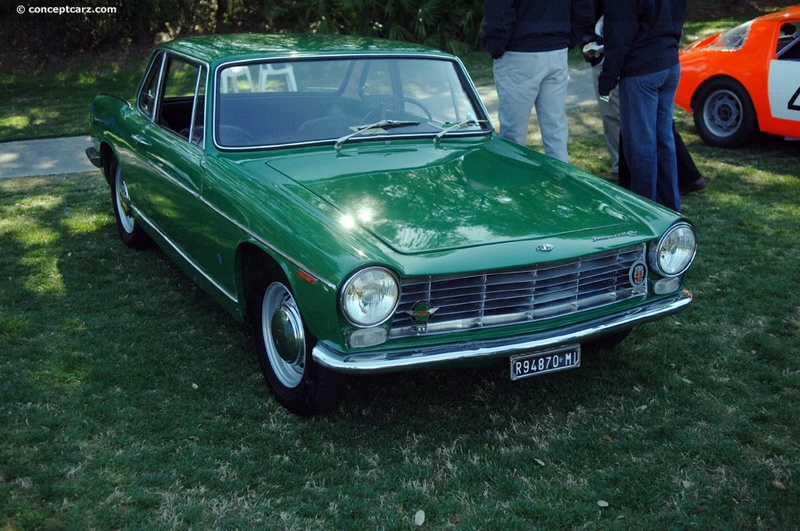 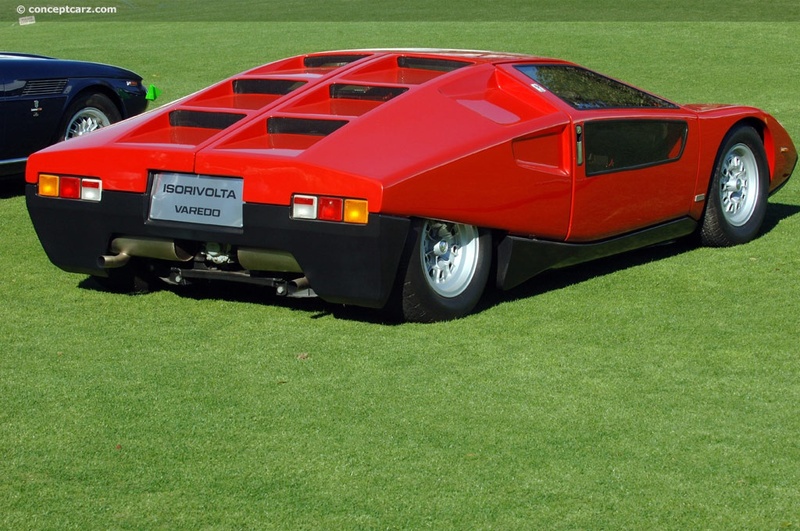 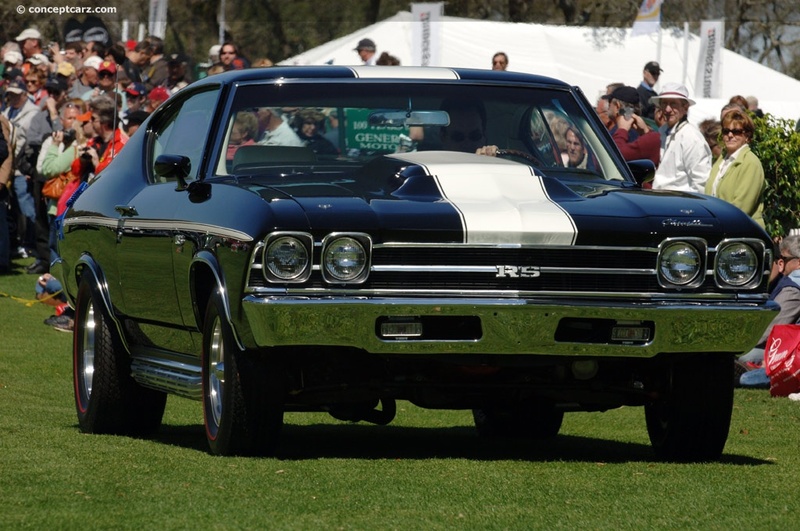 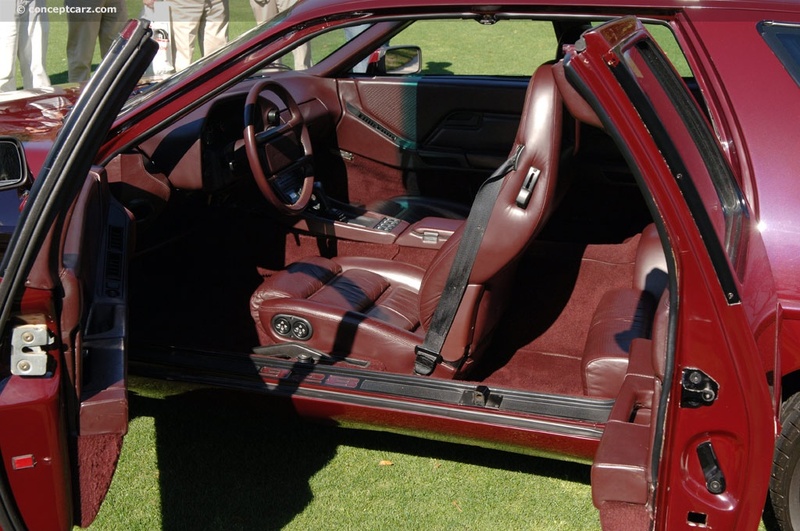 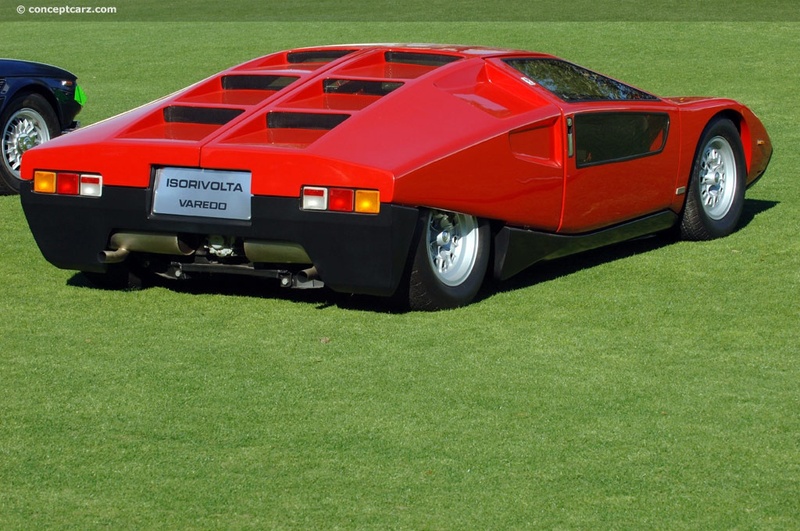 Other celebrated automakers which were given their own category, included Duesenberg, Rolls-Royce, Iso/Bizzarrini, two categories for MG, Porsche, Austin-Healey, Ferrari, Mercedes-Benz and separate categories for rare Chevrolet Camaros and Corvettes. 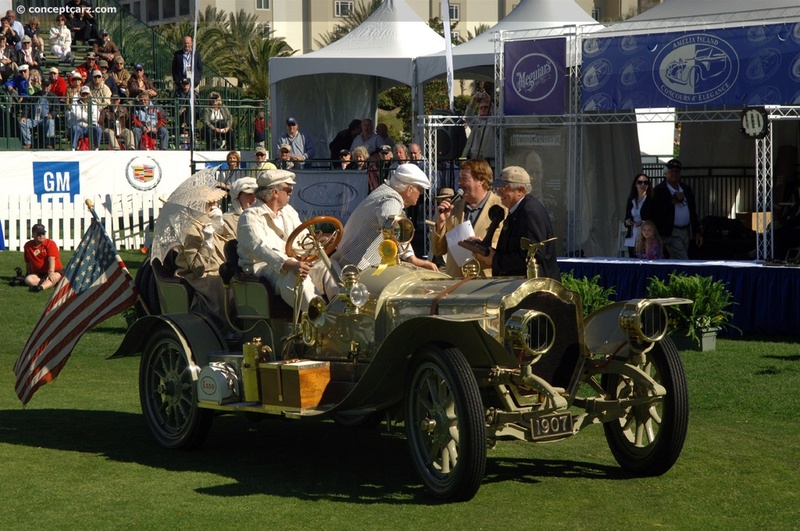 The awards ceremony began only a few hours after the start of the show. 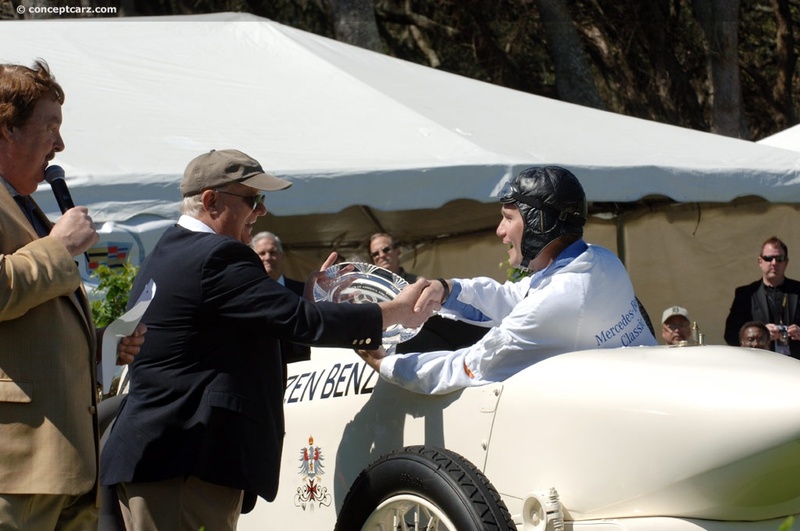 The ceremony lasted the better part of the event, with more than 100 awards handed out, with each winning car invited to the awards area in turn. 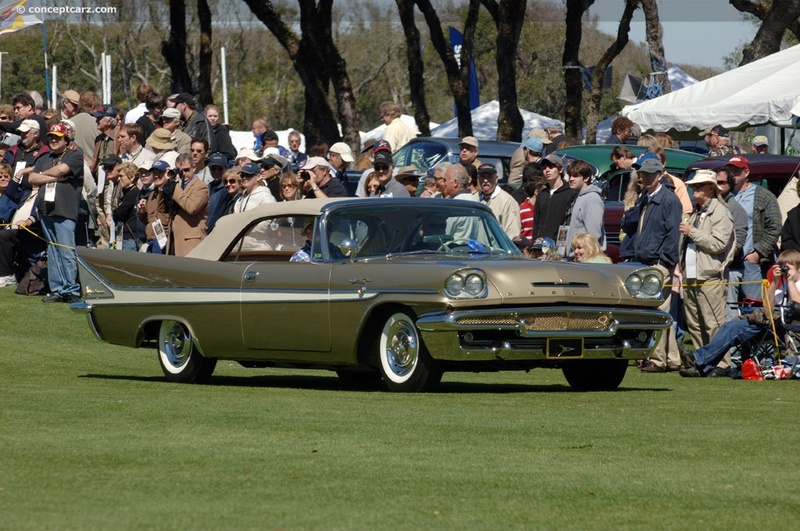 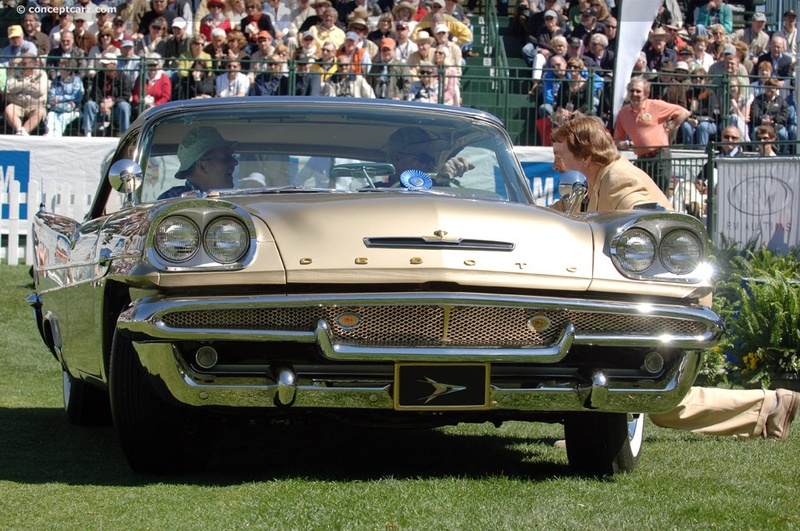 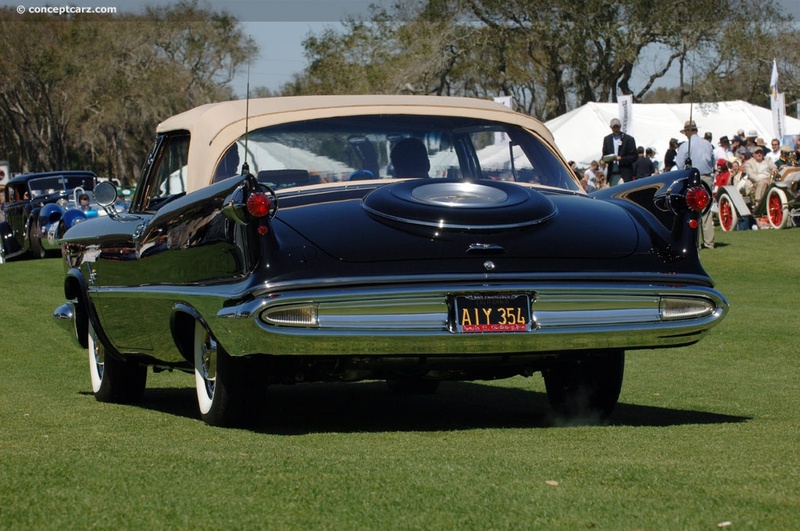 The Chairman's Choice Award, selected by the chairman as the most appealing car on the field, went to the 1957 Ford Battlebird. 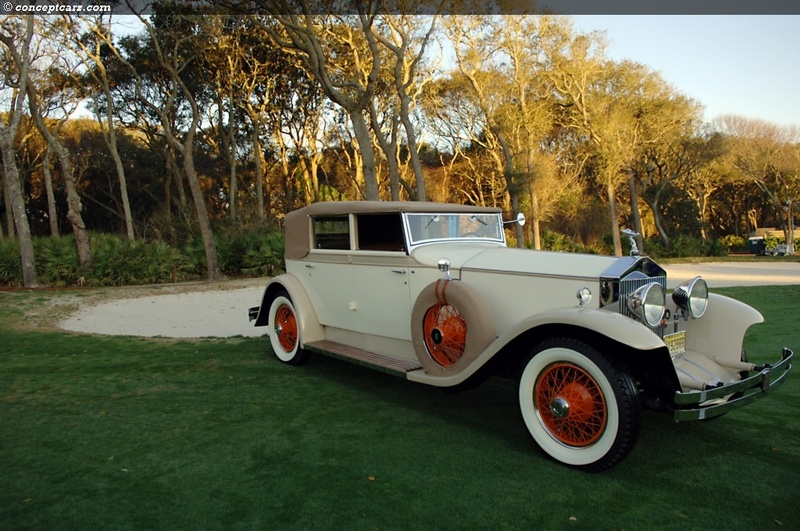 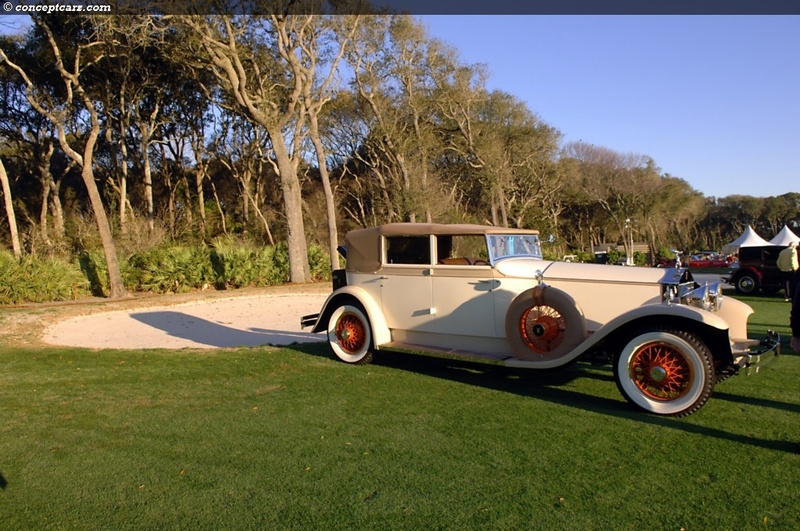 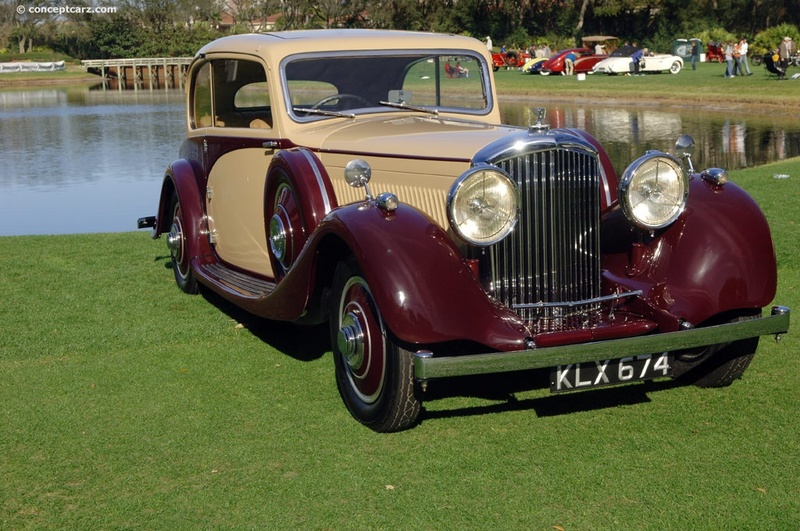 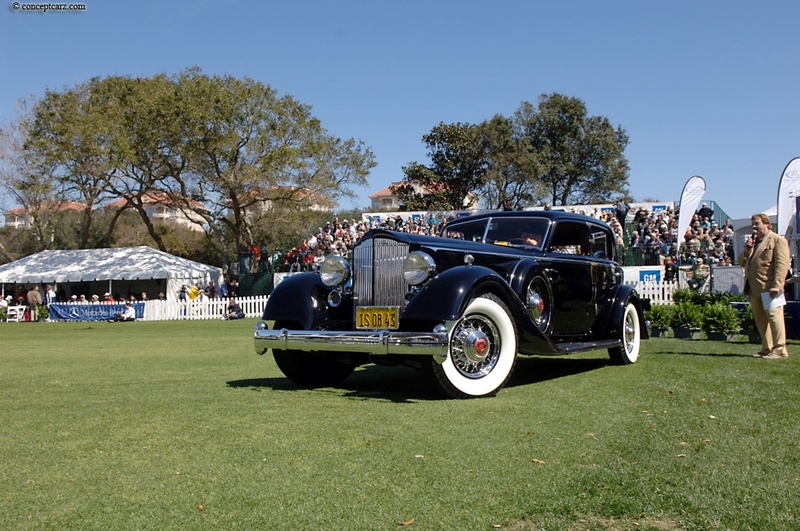 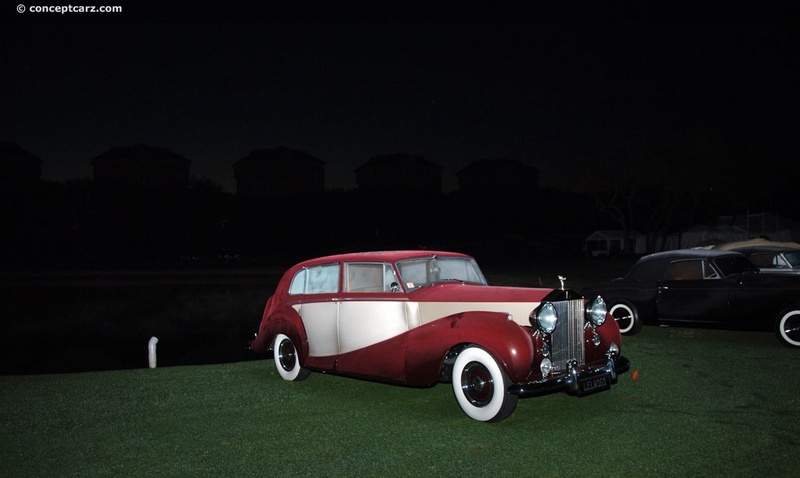 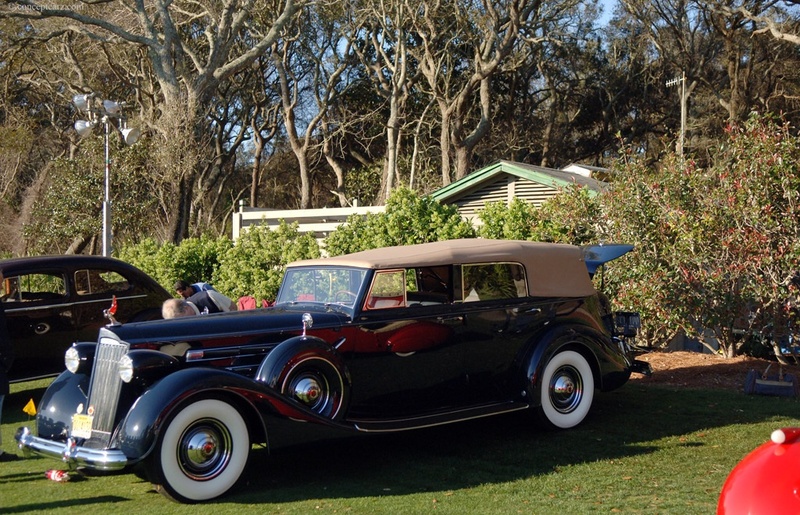 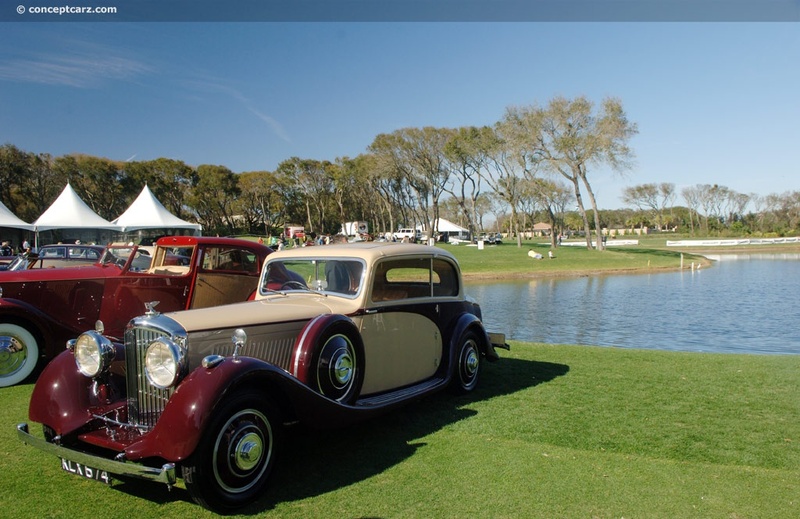 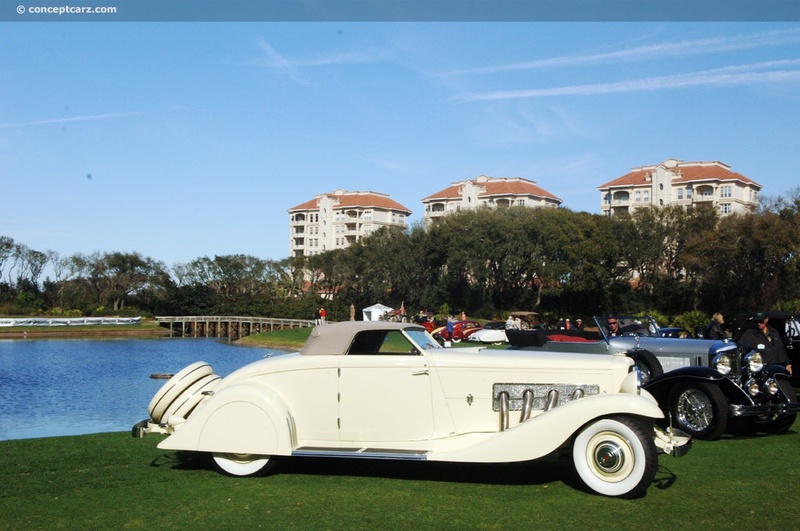 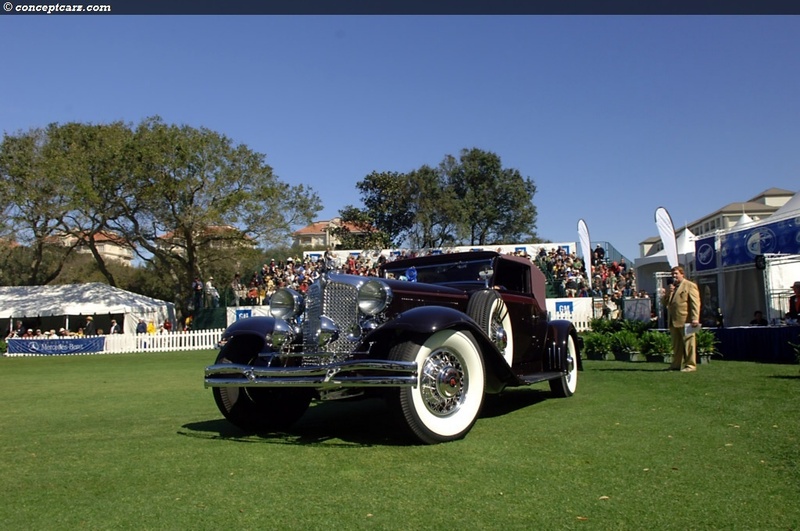 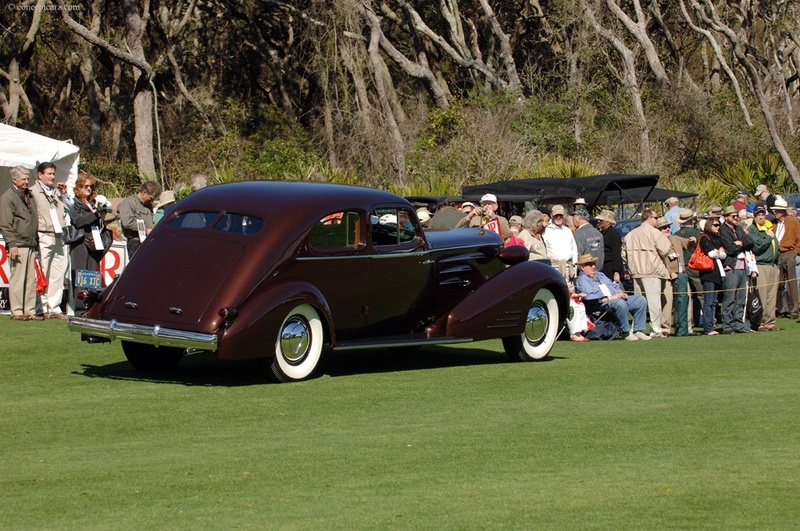 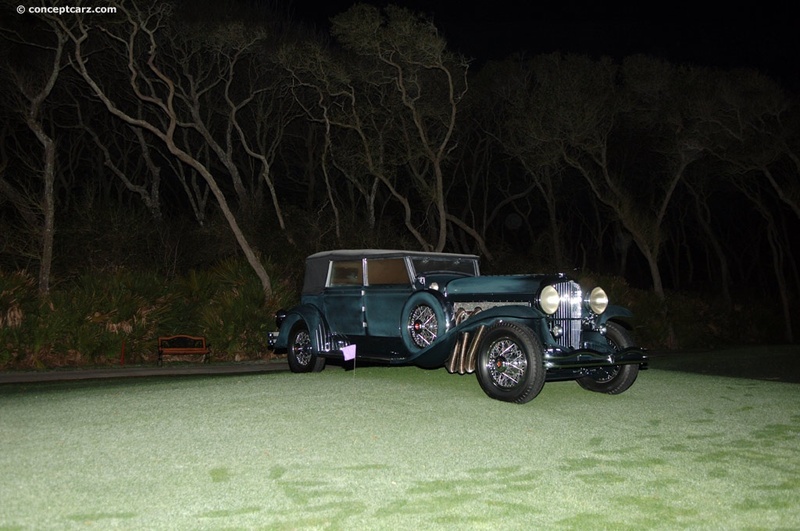 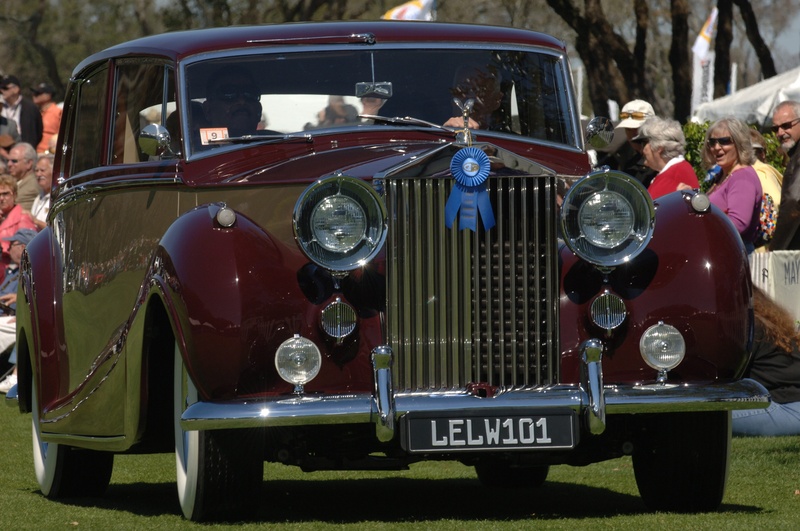 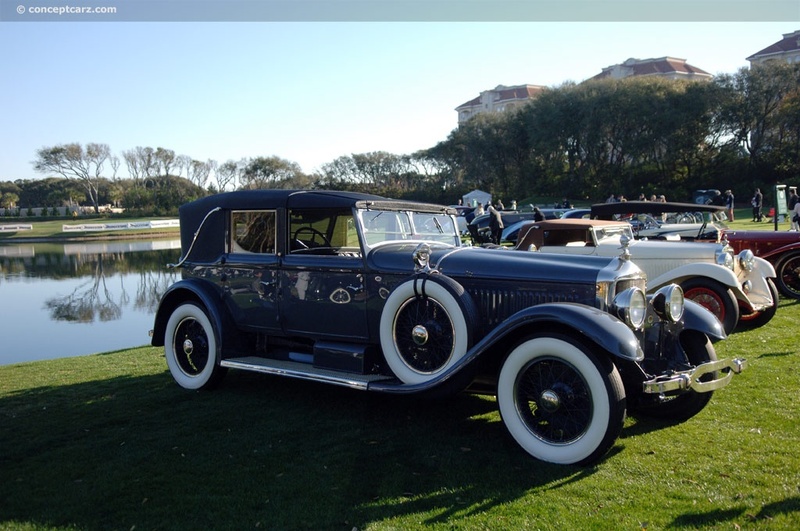 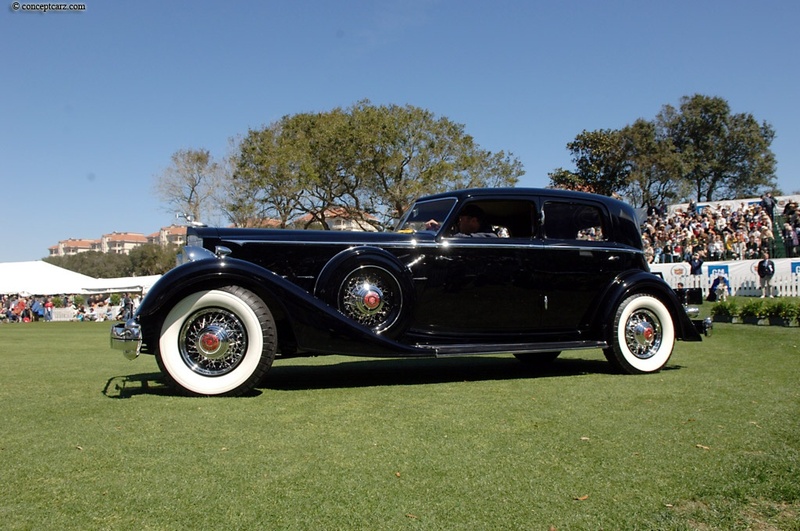 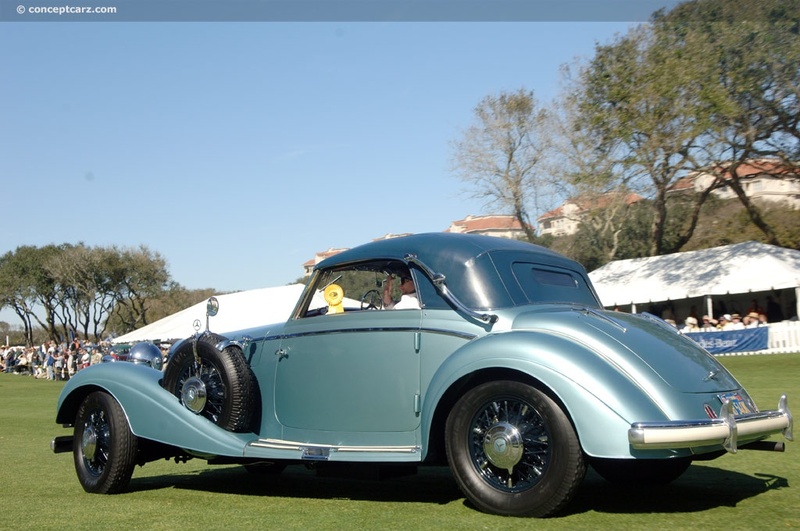 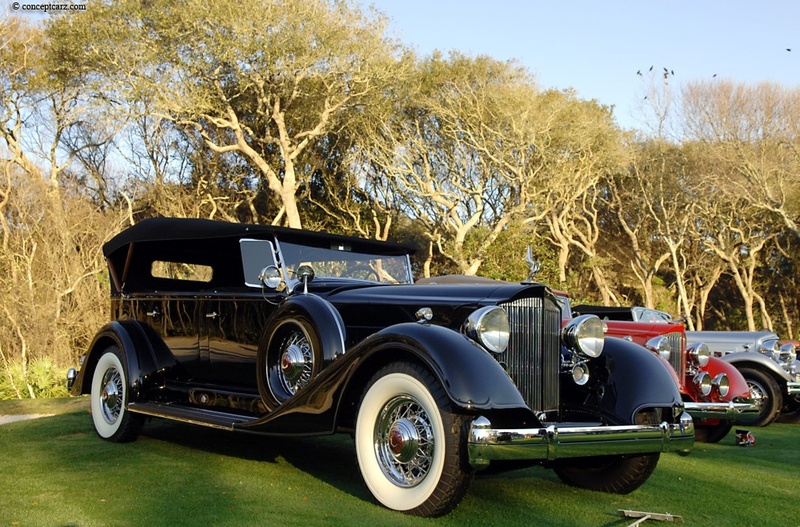 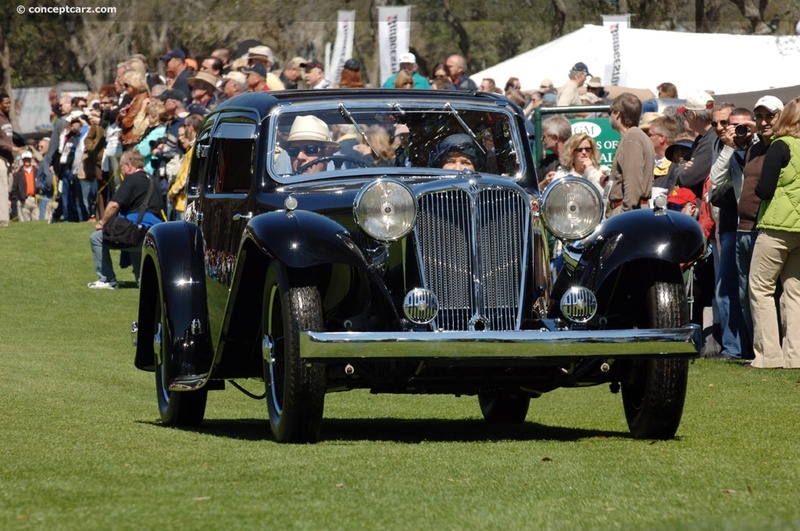 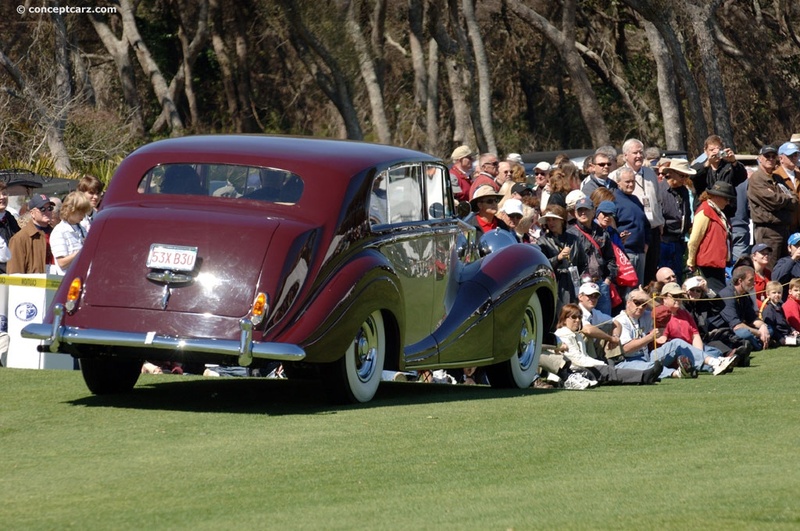 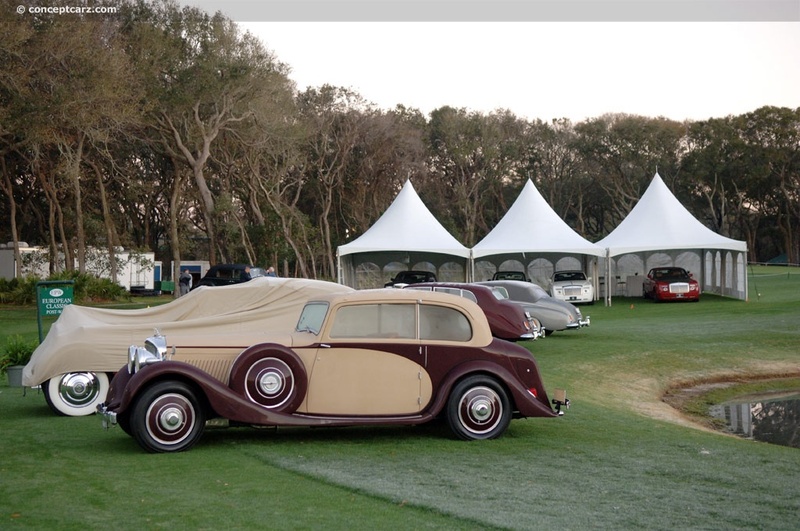 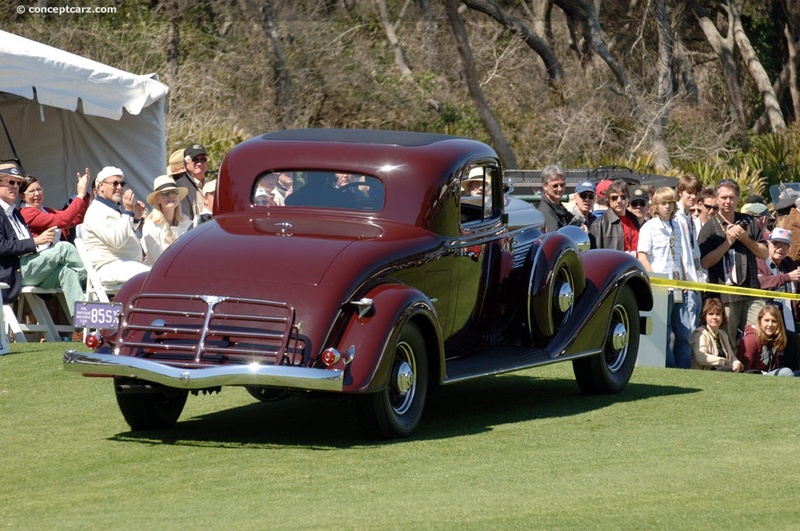 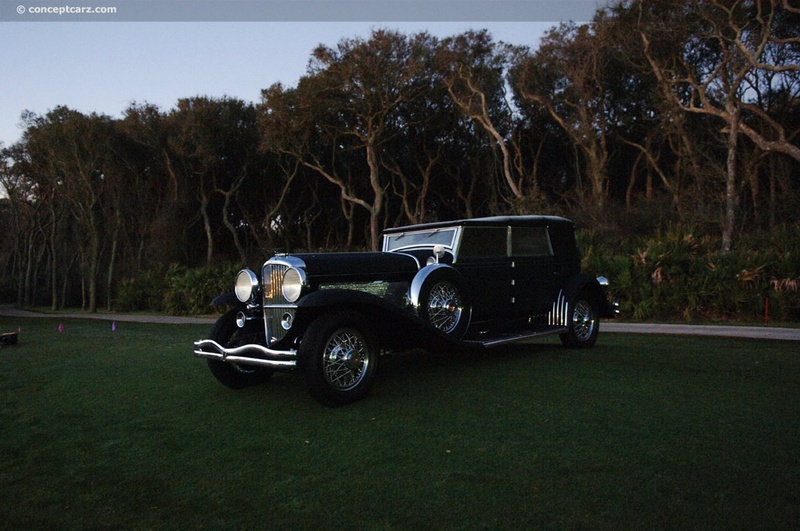 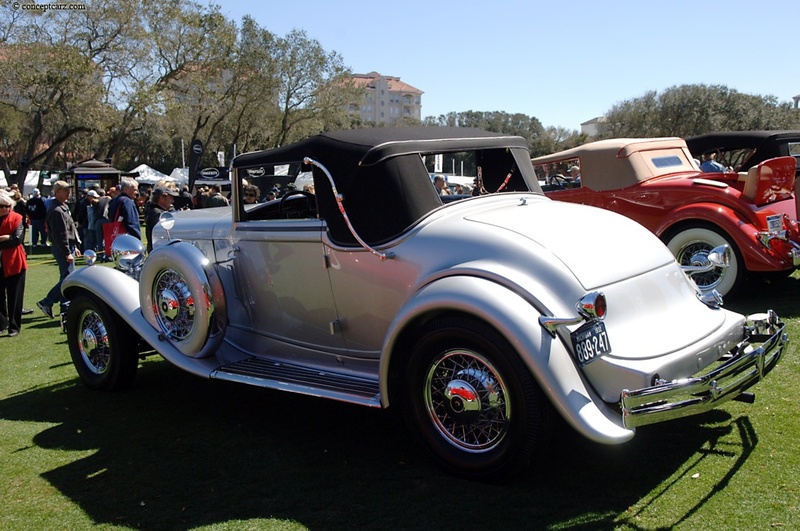 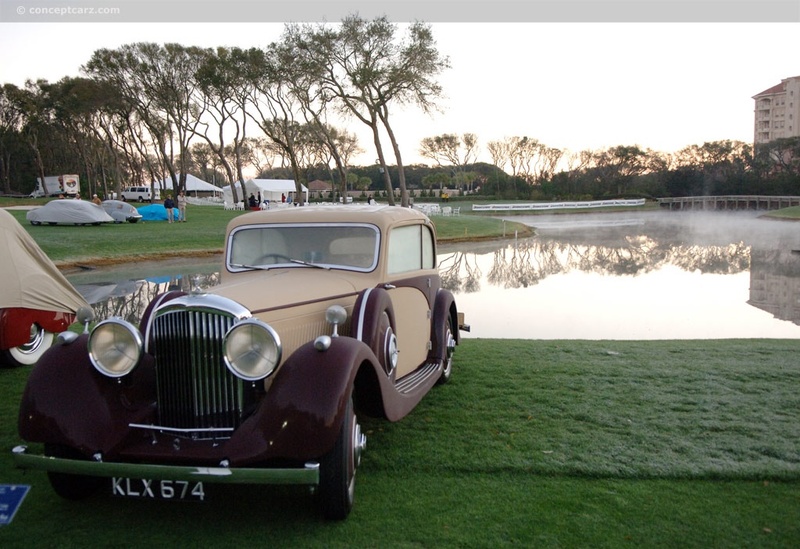 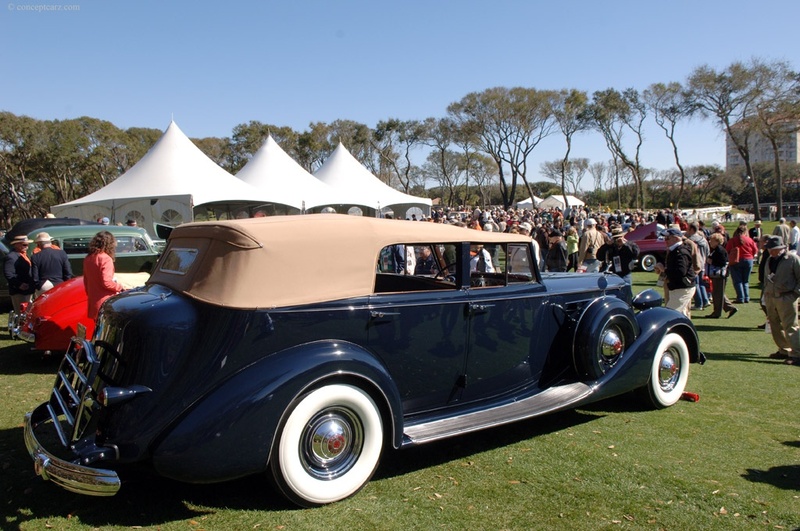 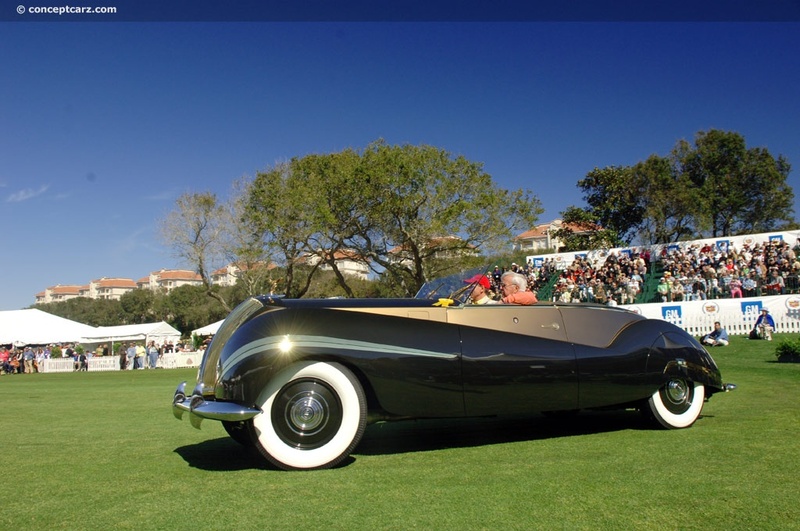 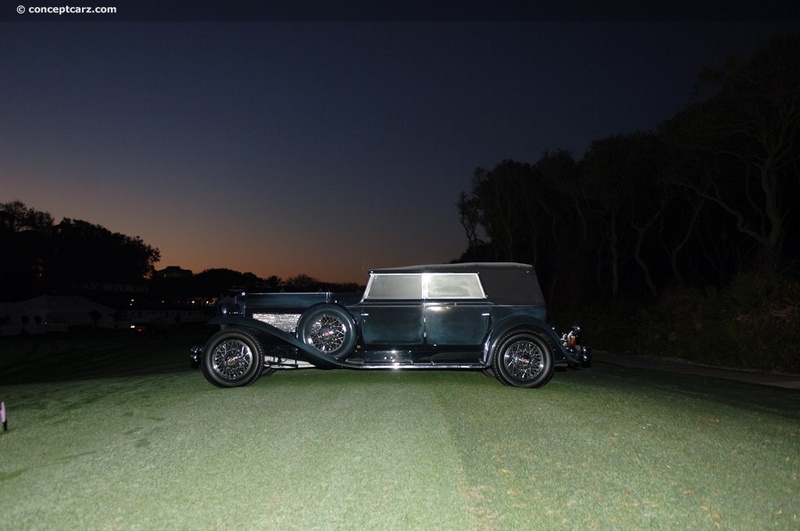 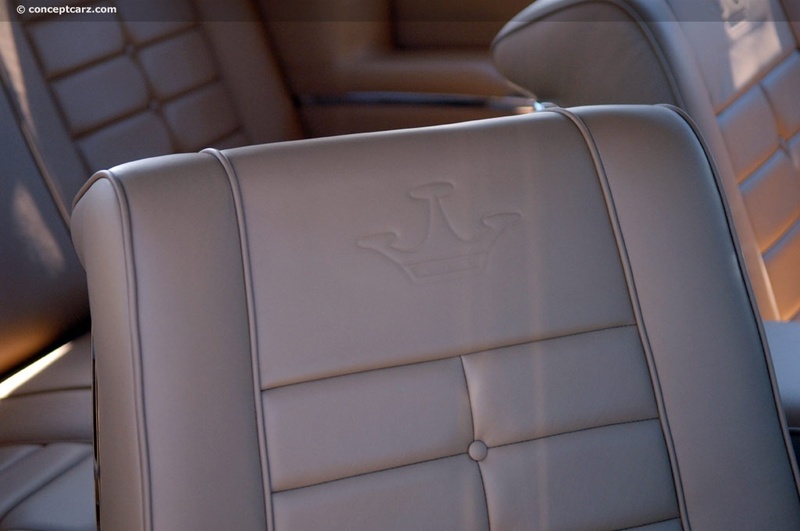 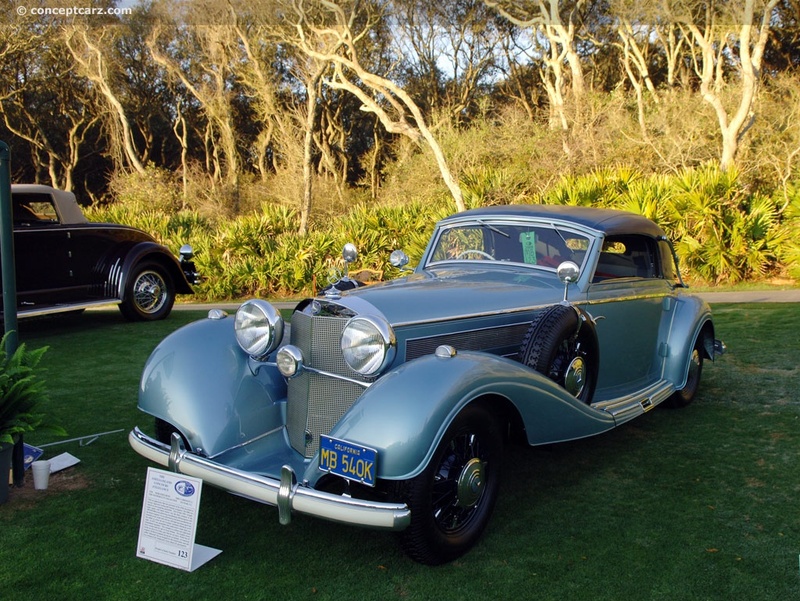 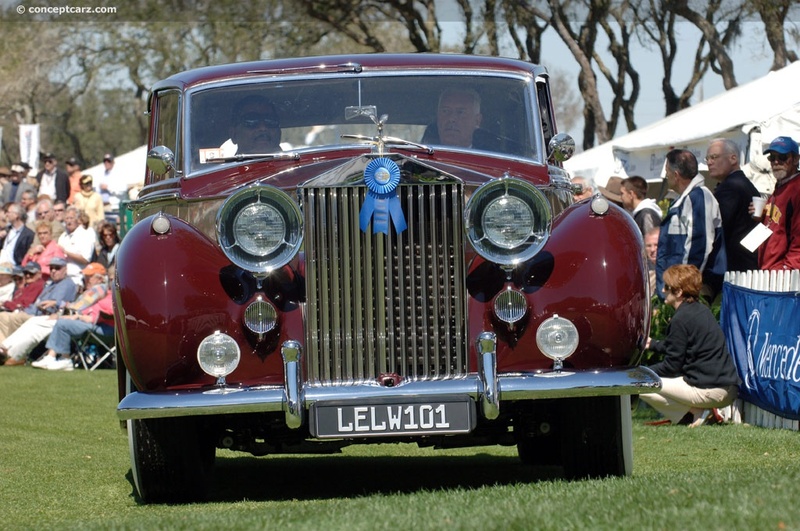 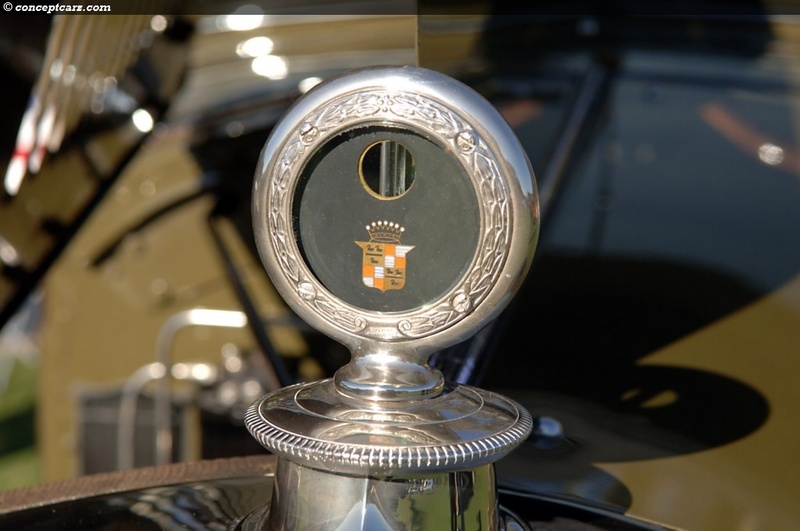 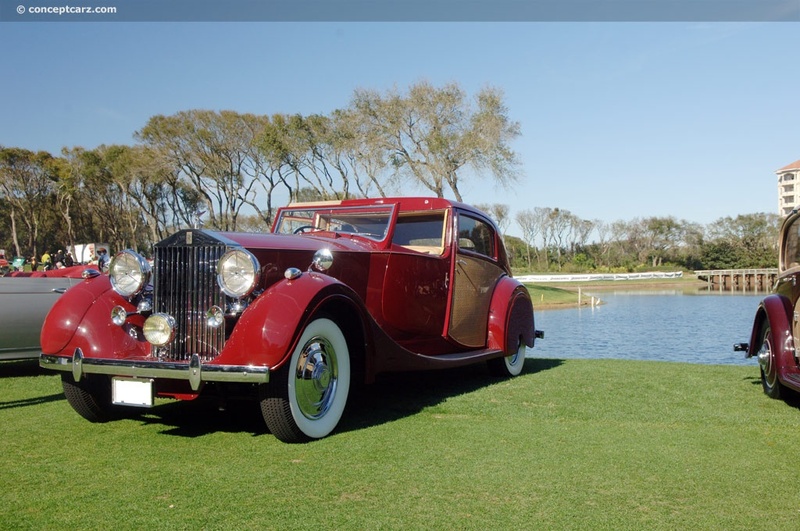 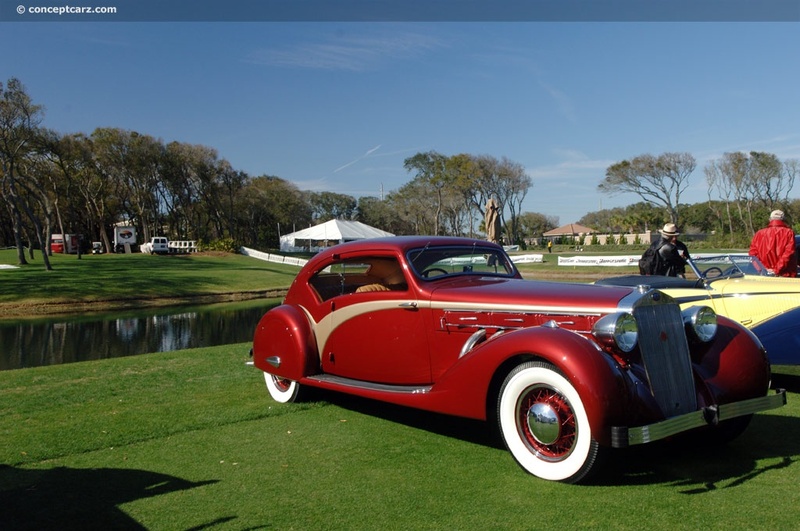 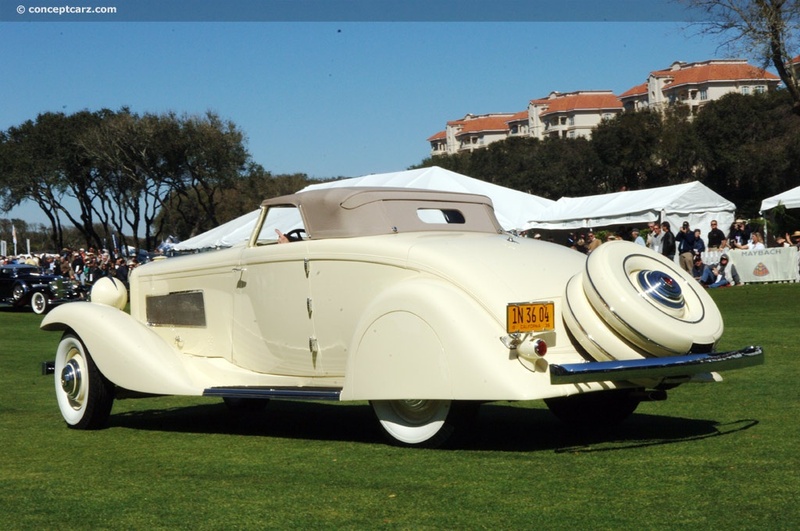 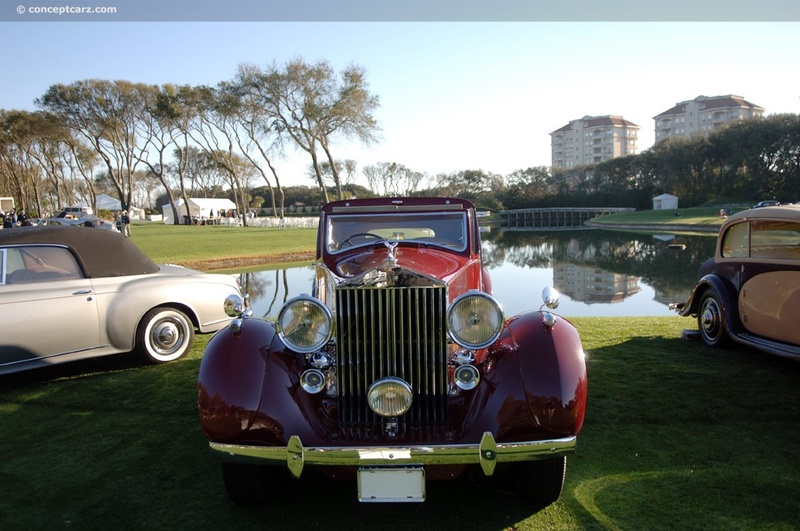 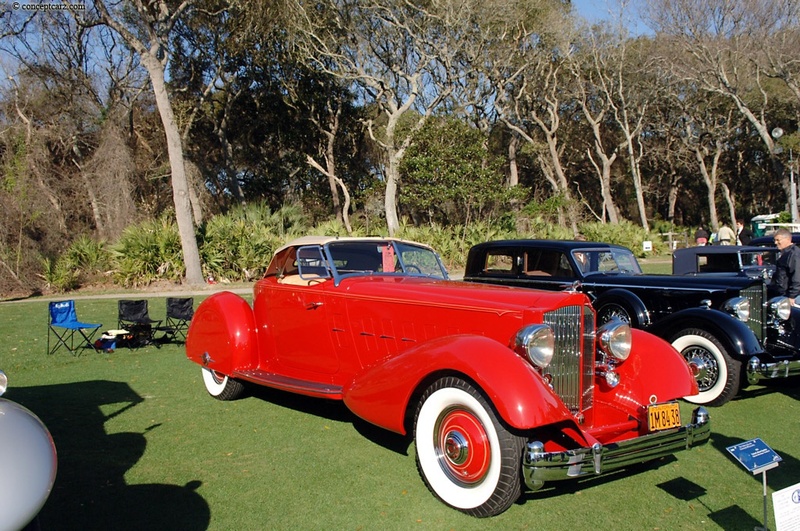 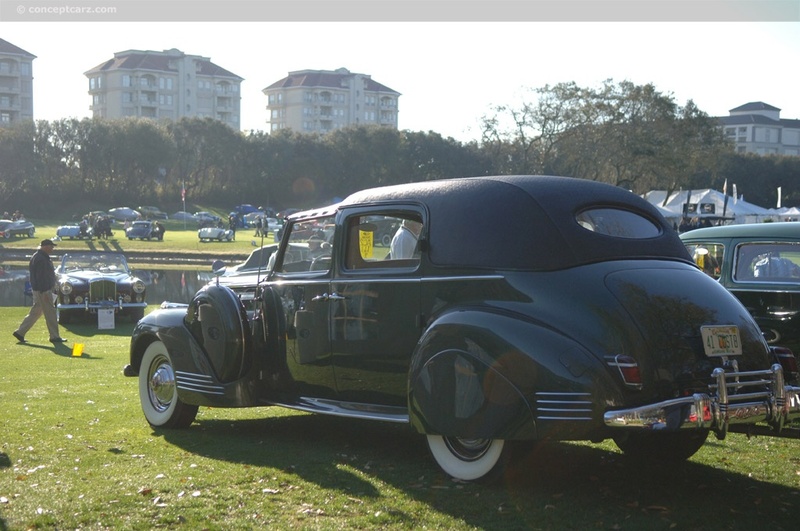 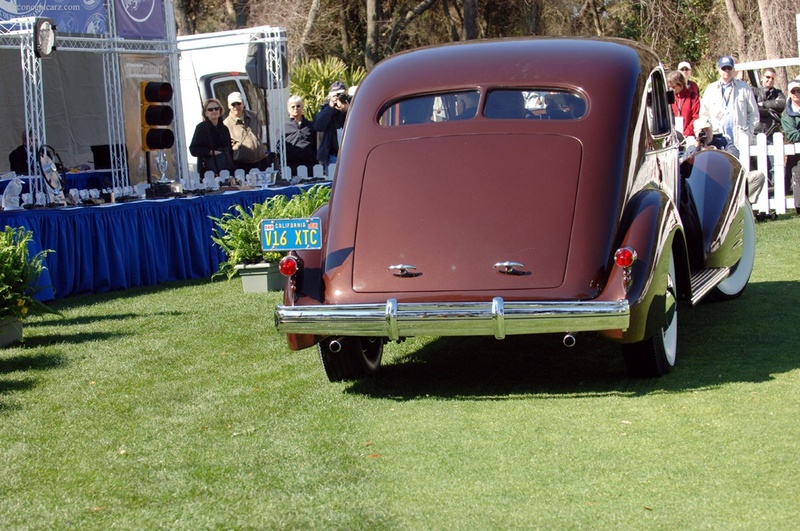 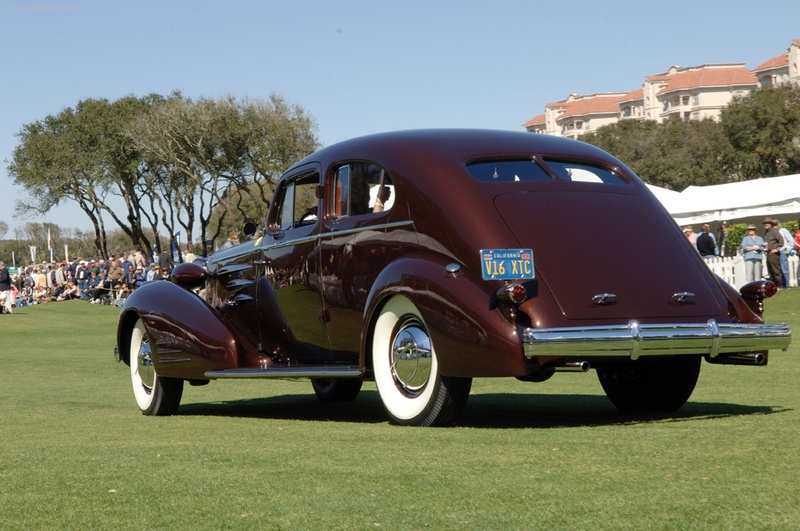 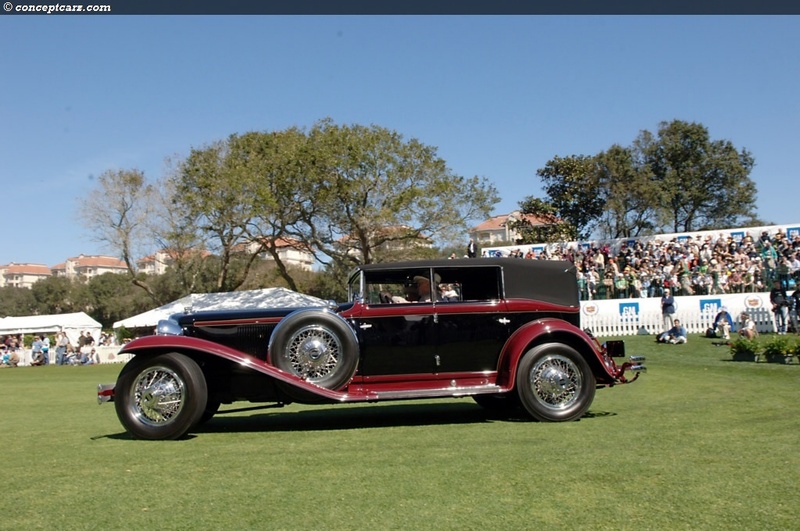 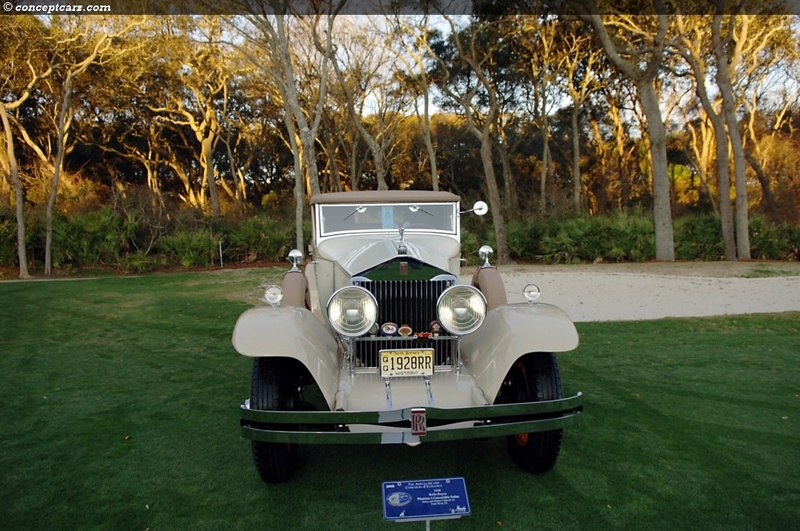 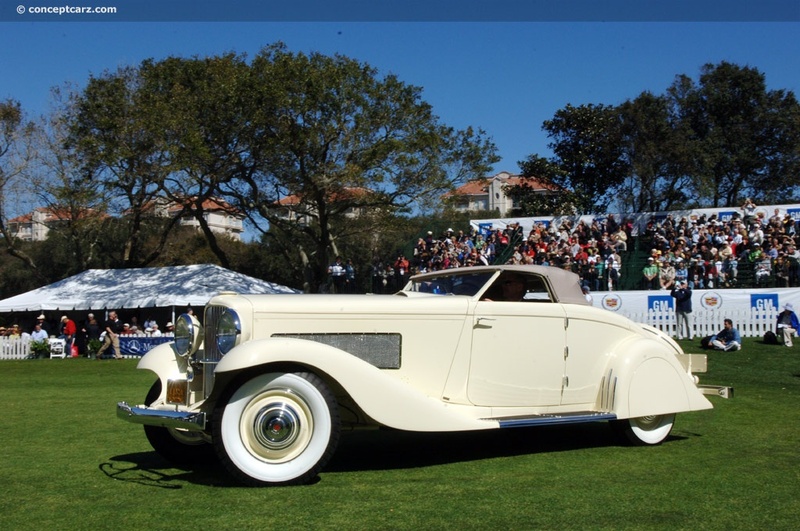 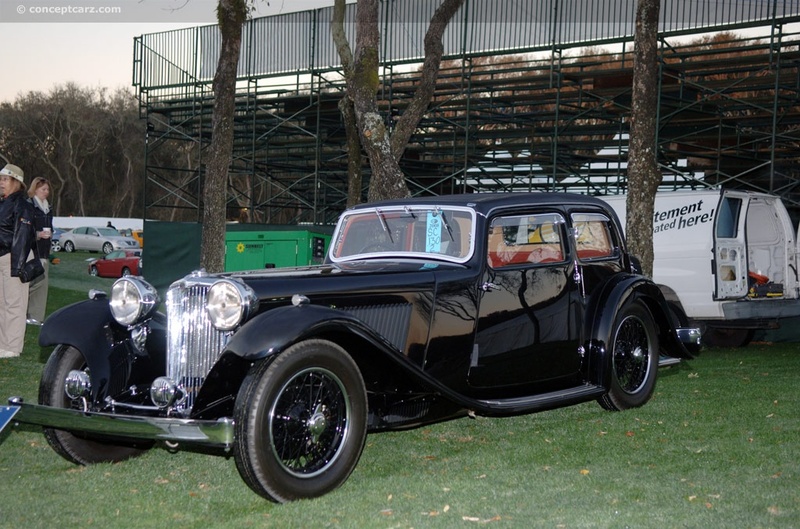 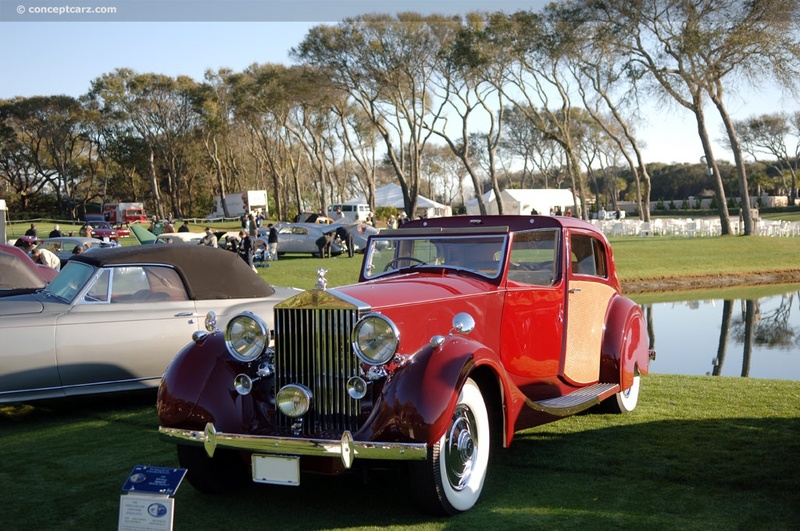 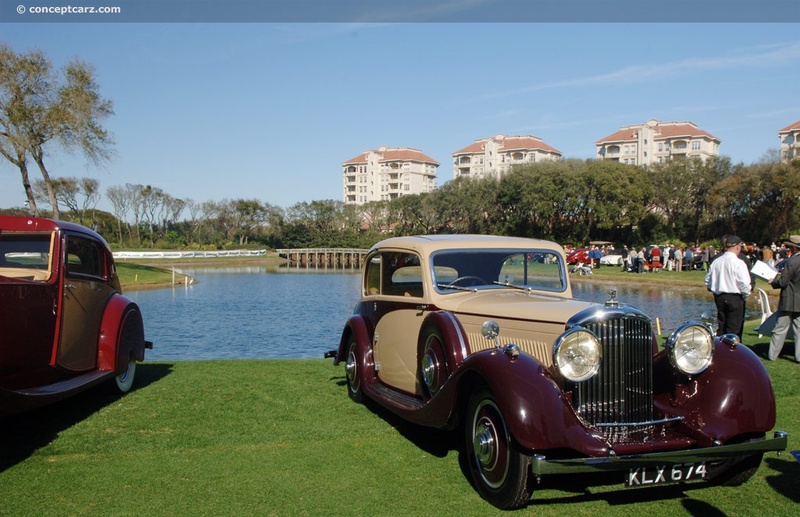 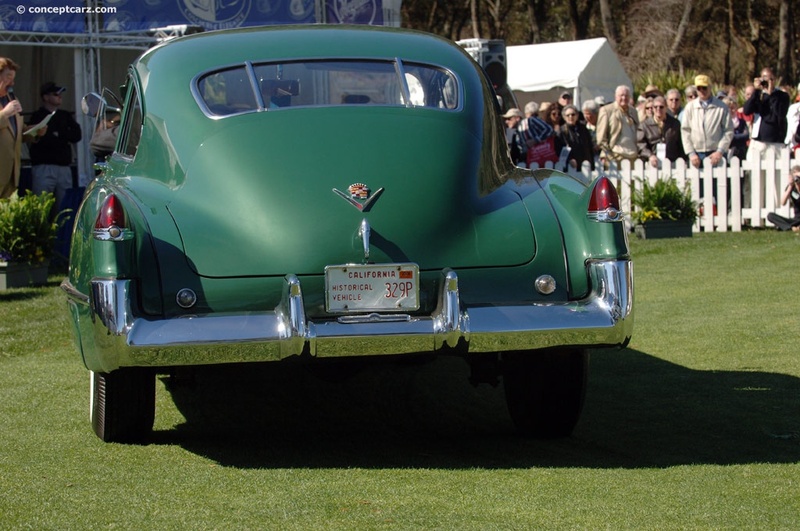 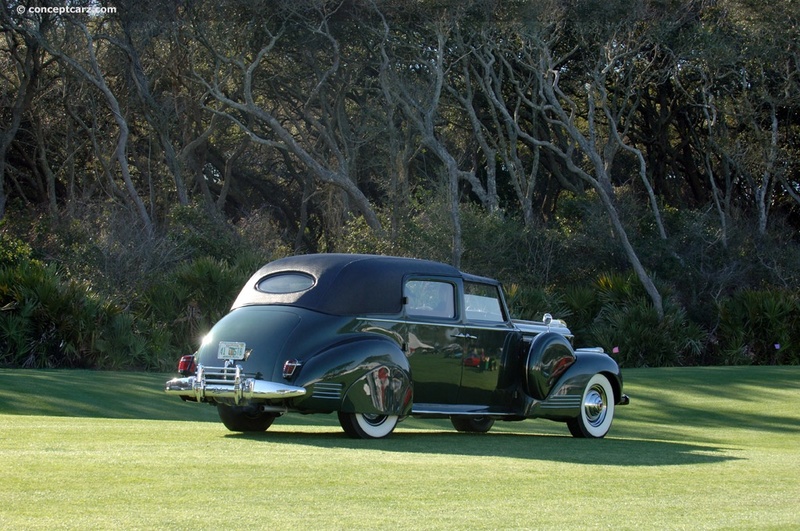 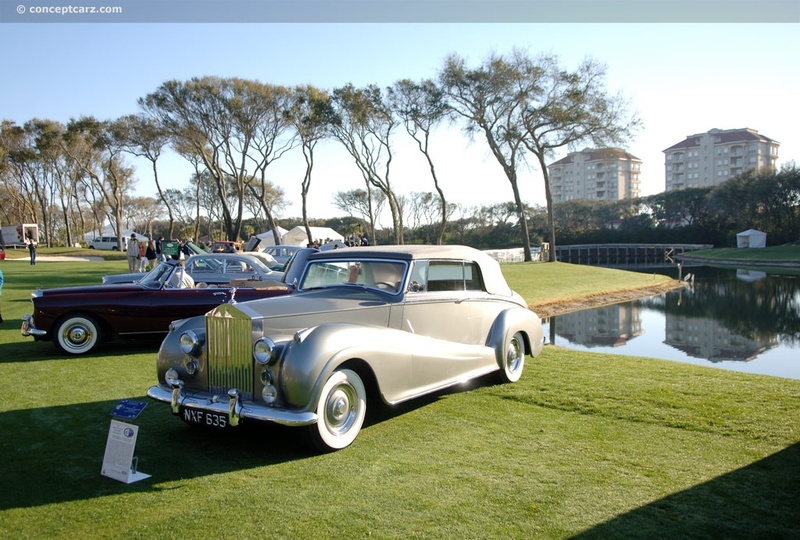 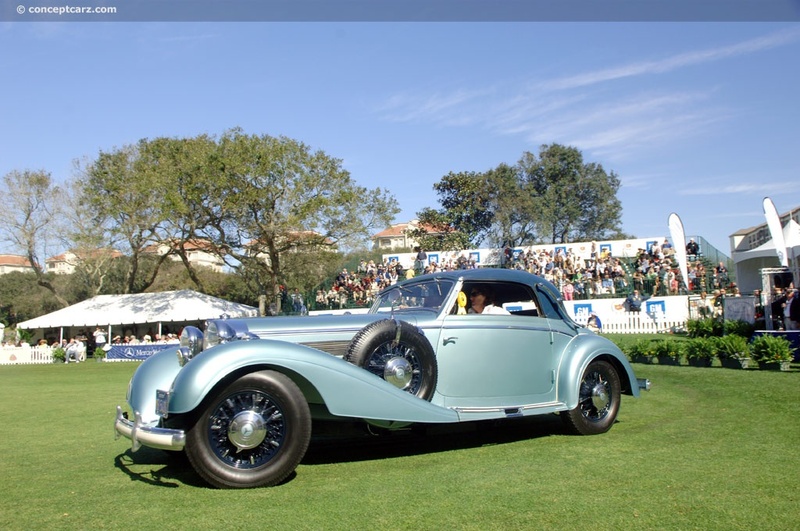 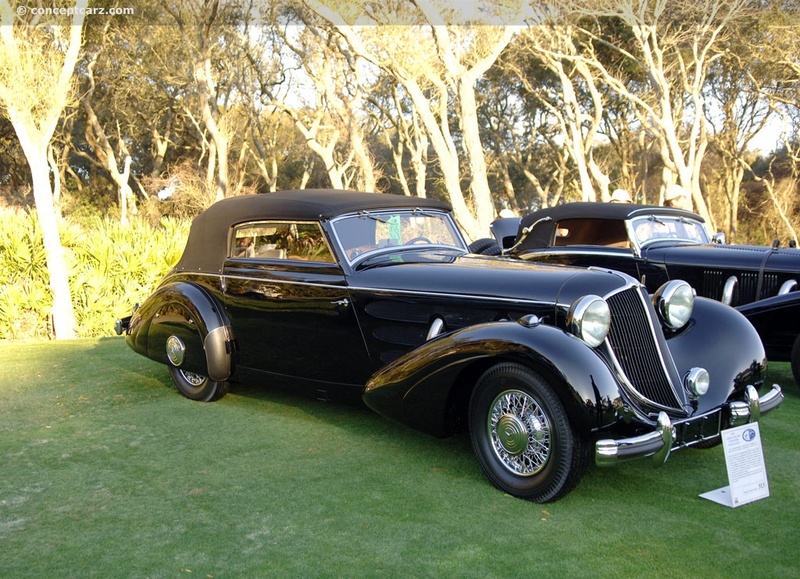 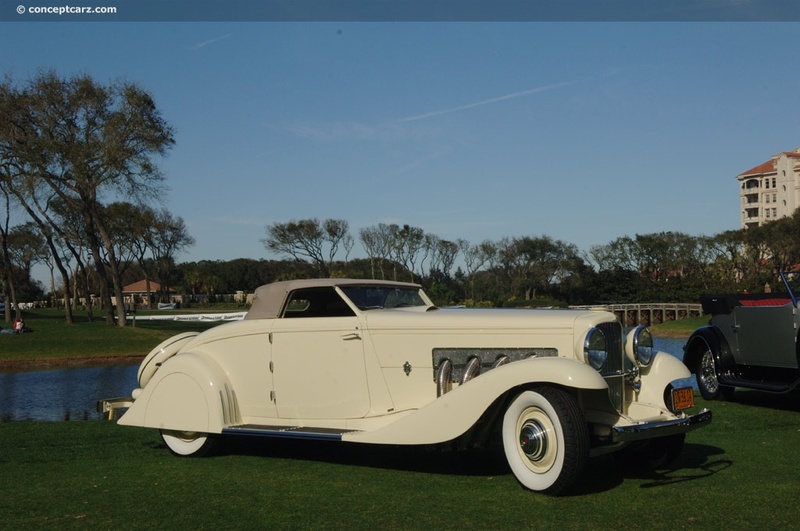 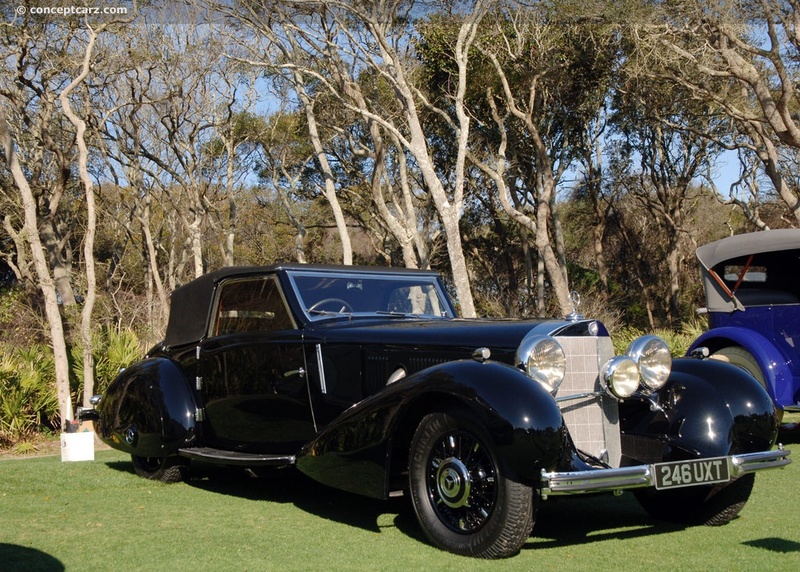 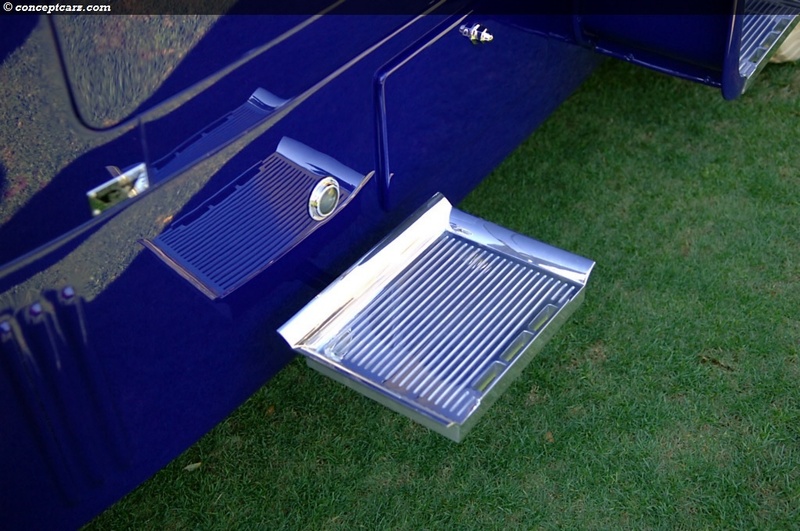 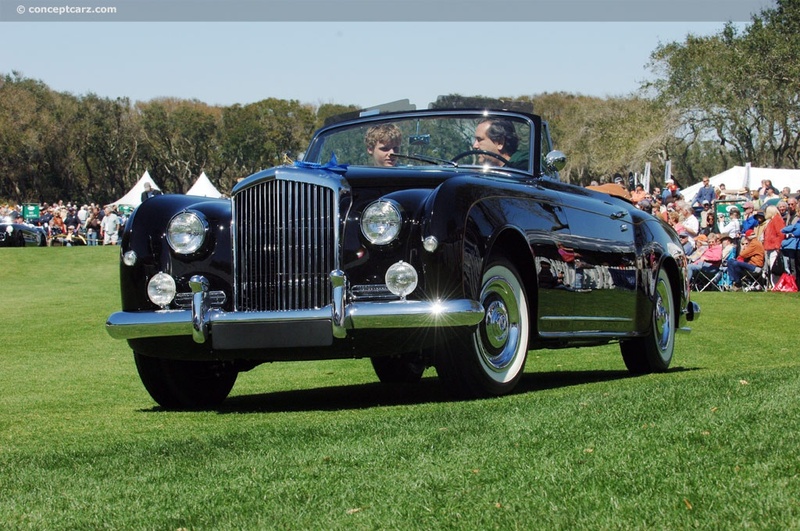 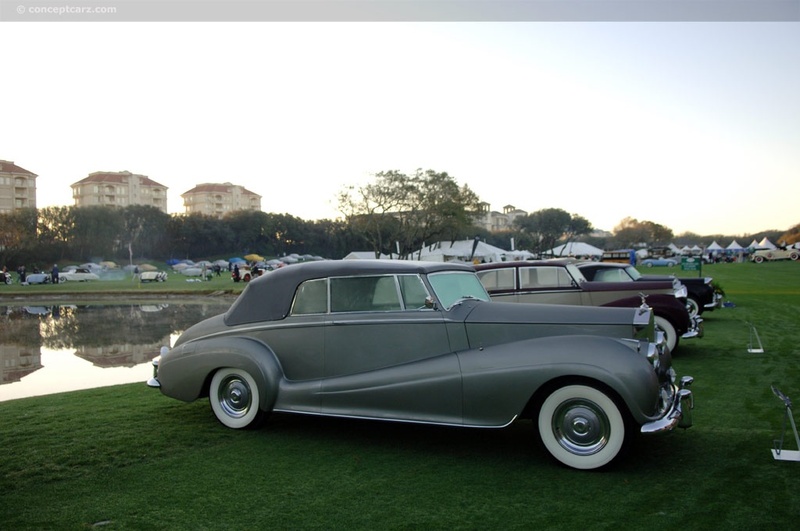 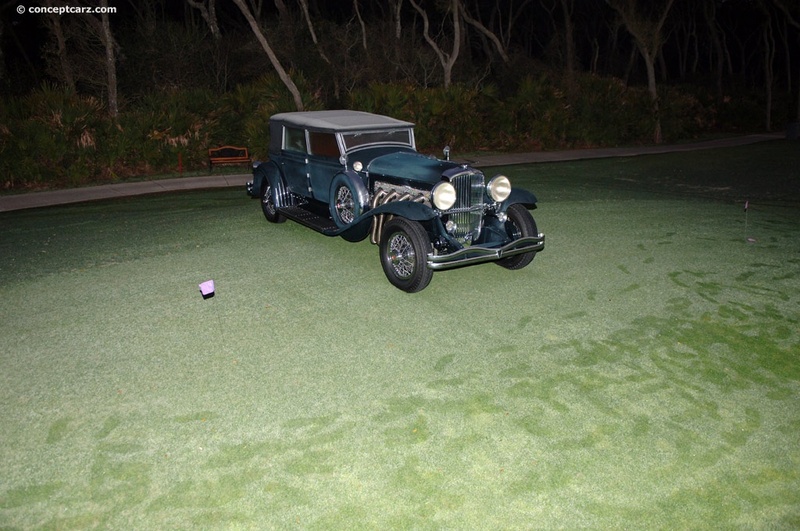 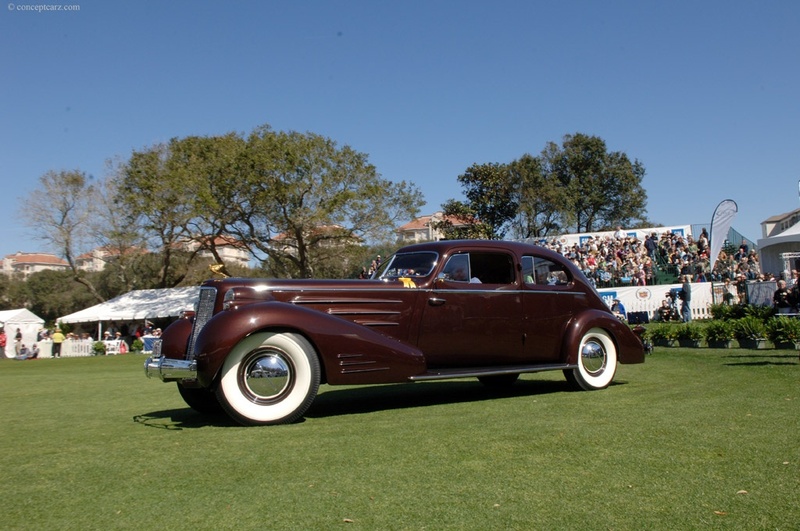 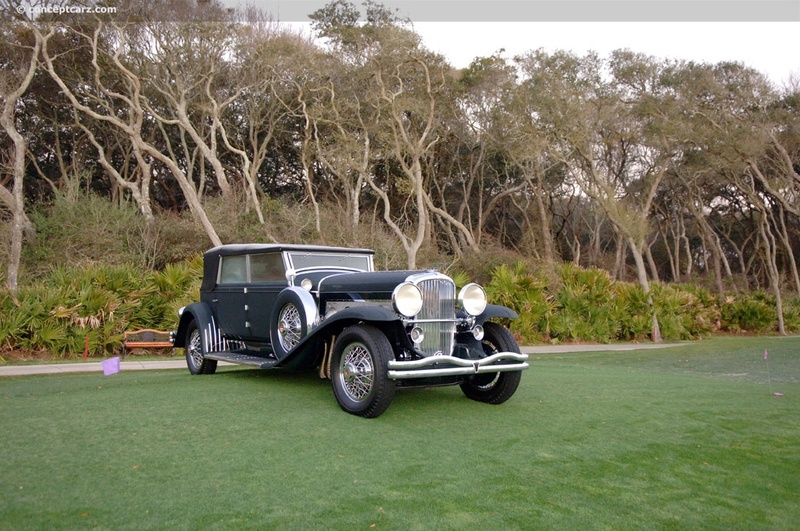 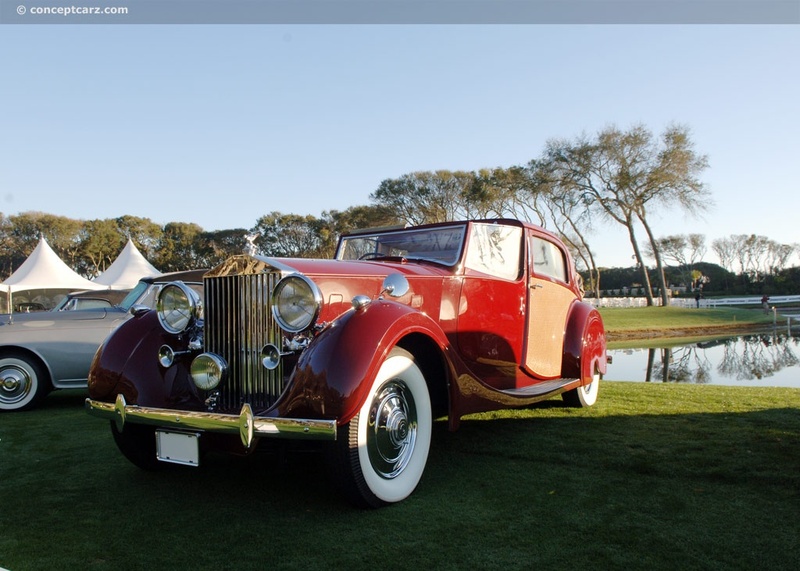 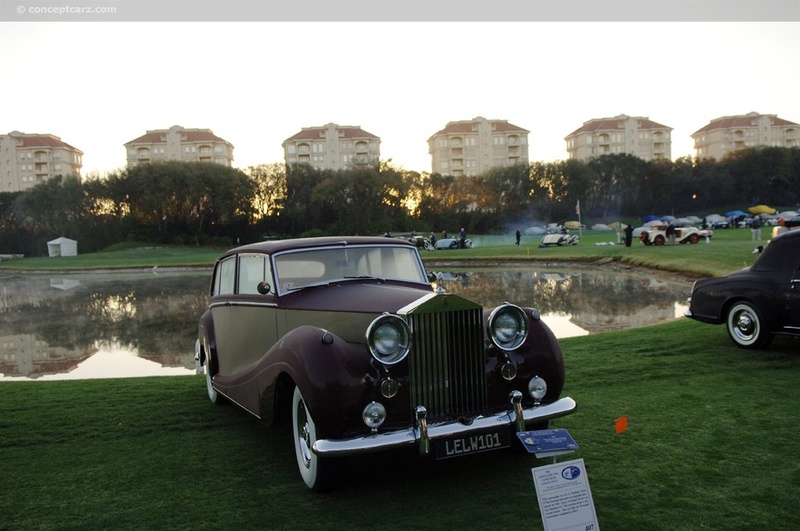 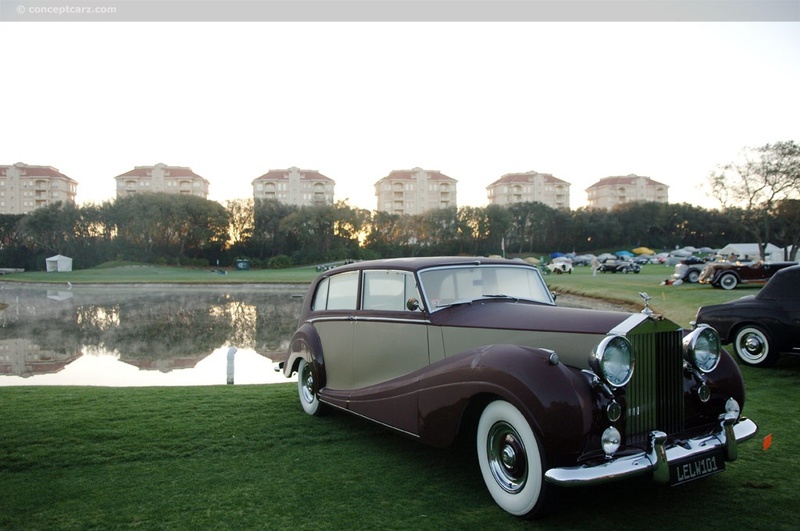 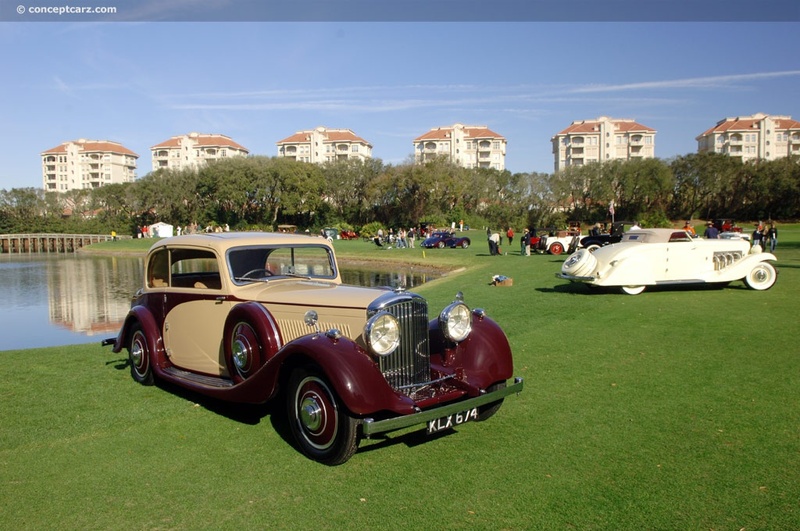 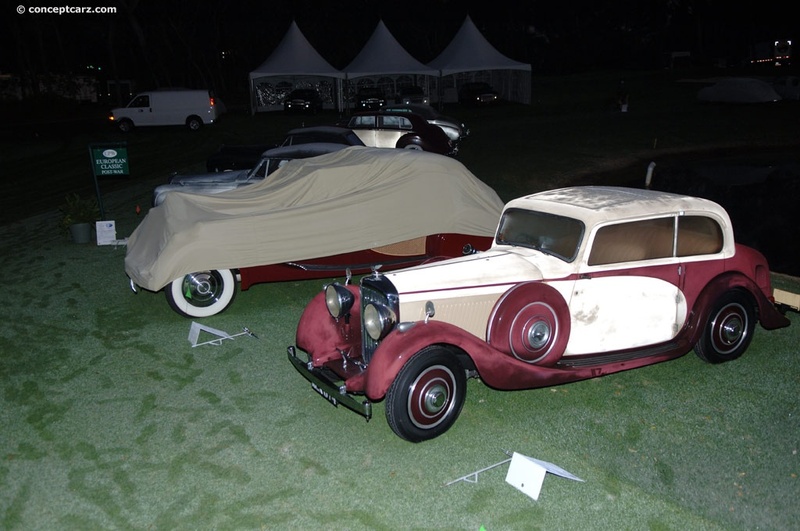 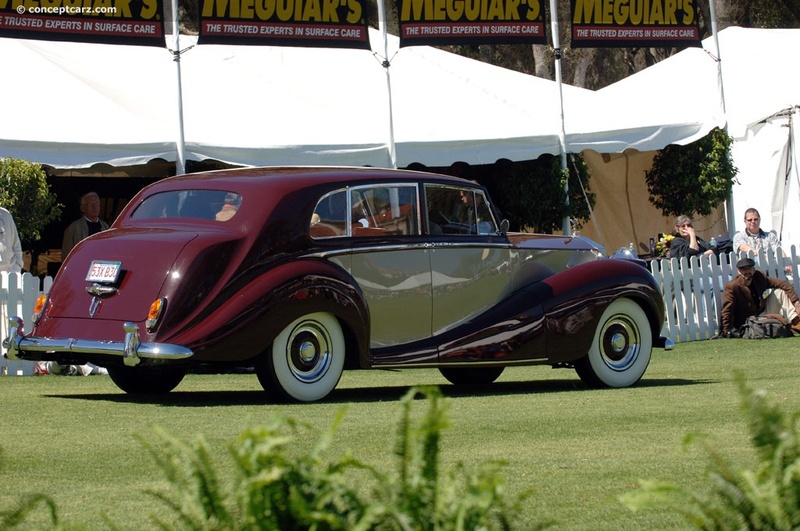 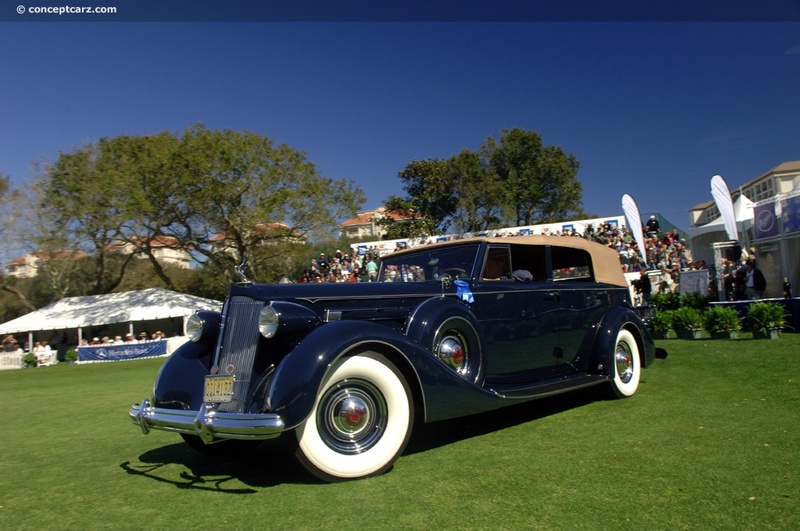 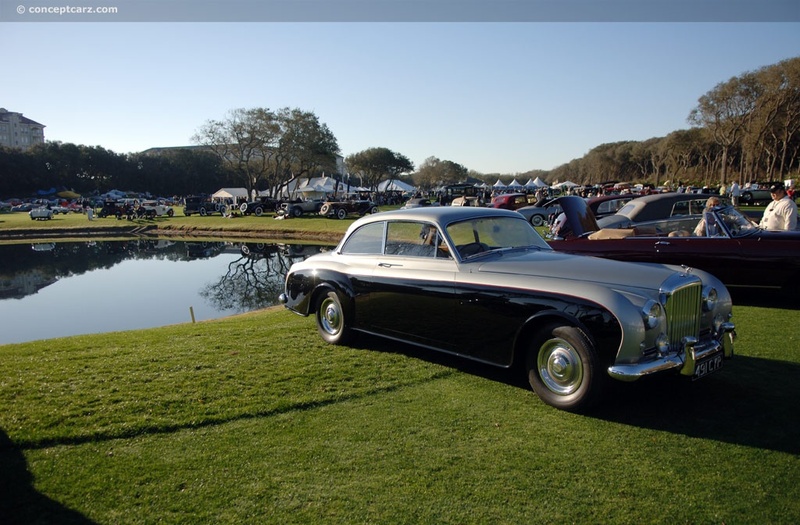 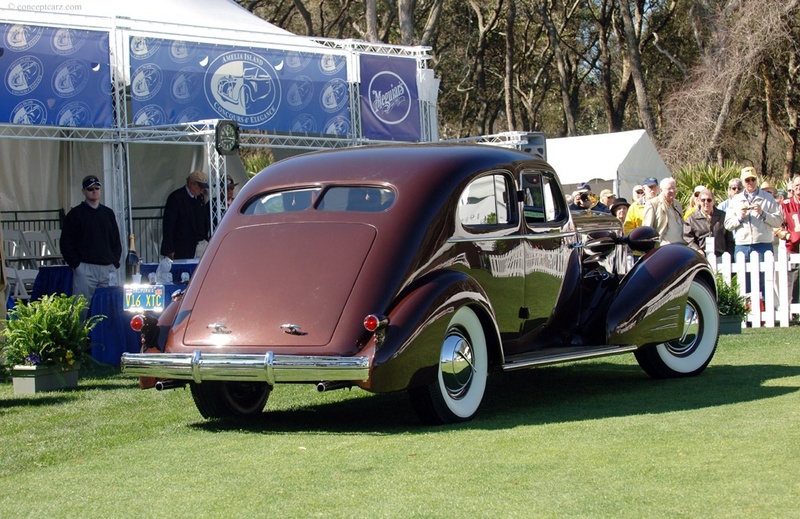 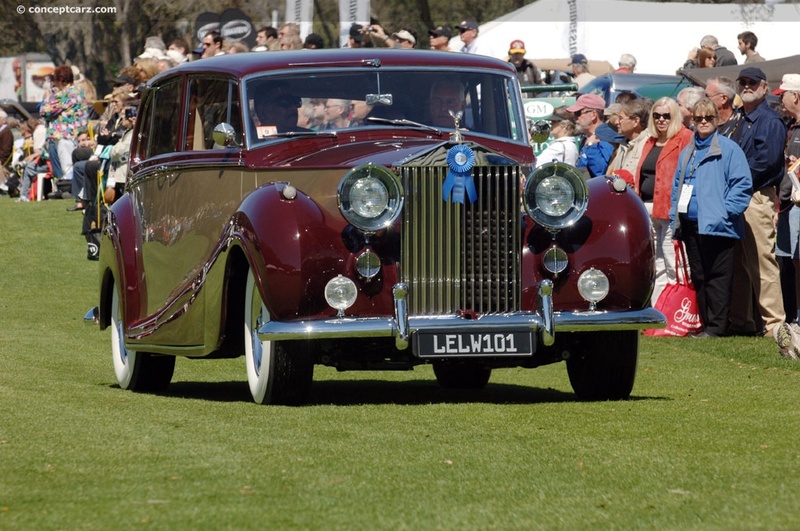 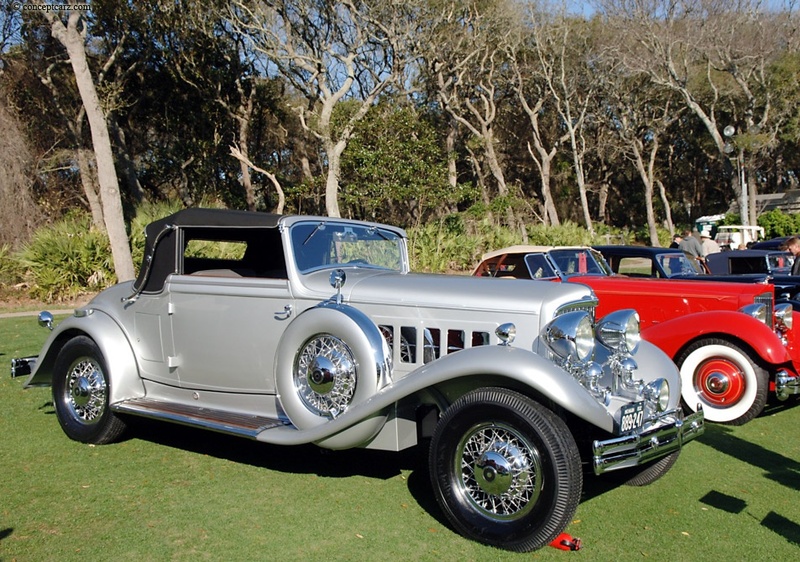 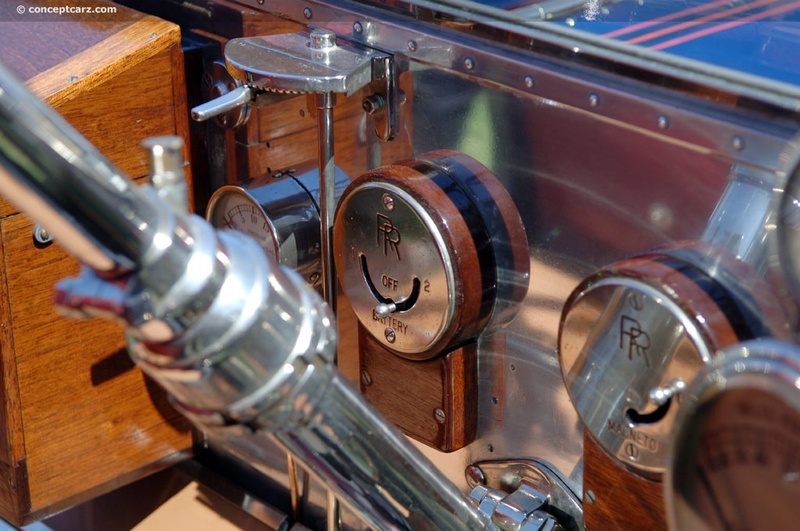 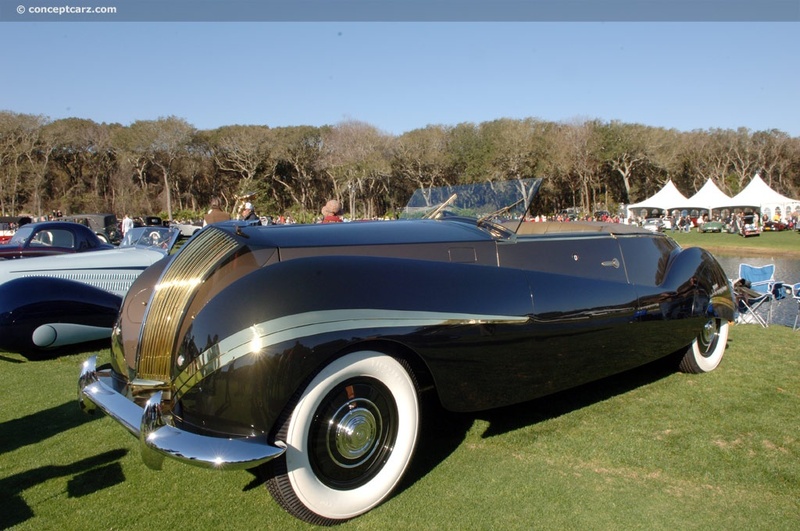 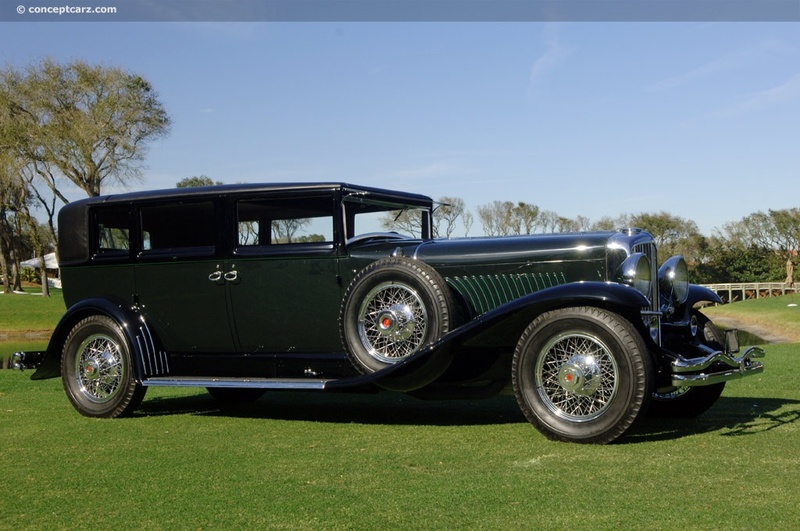 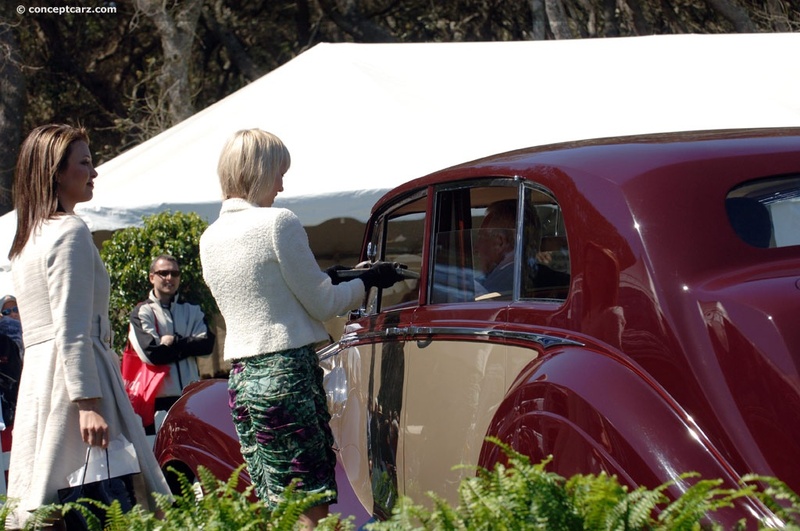 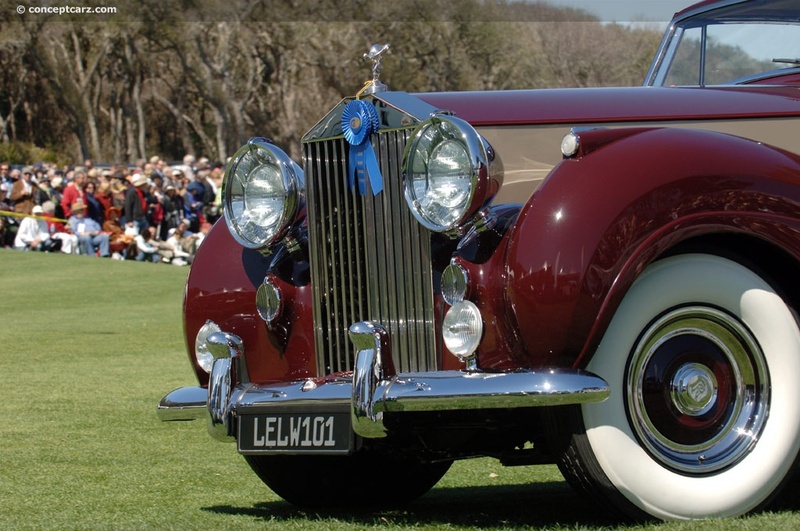 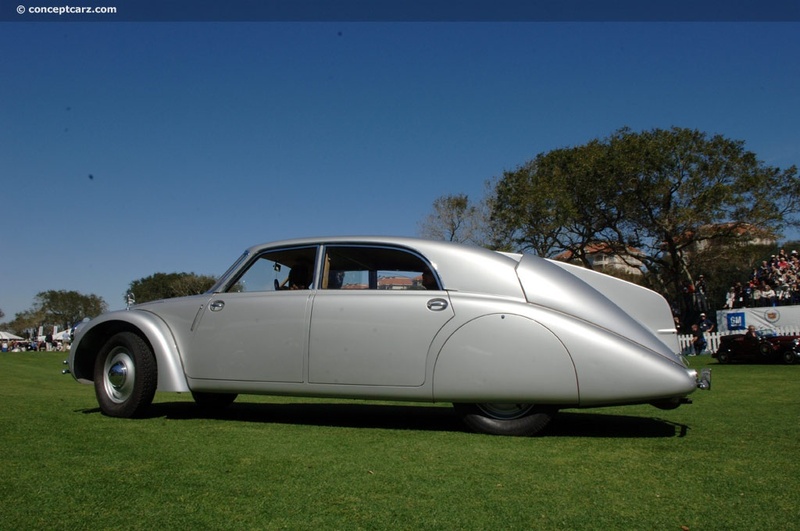 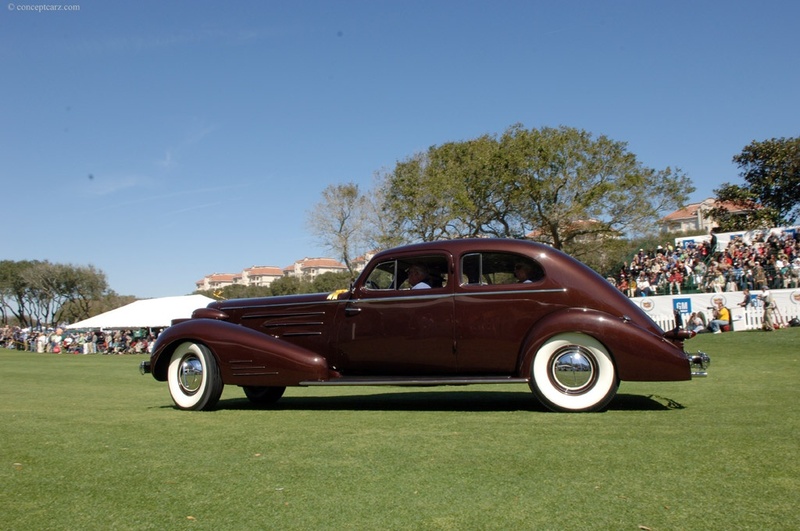 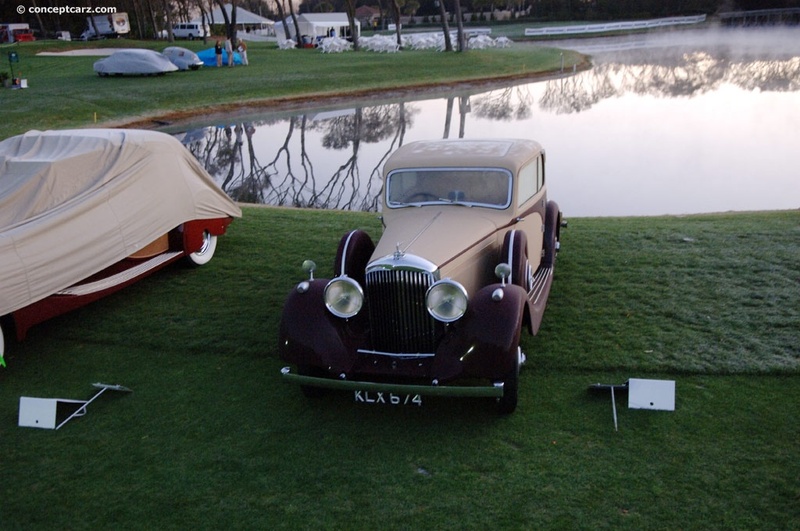 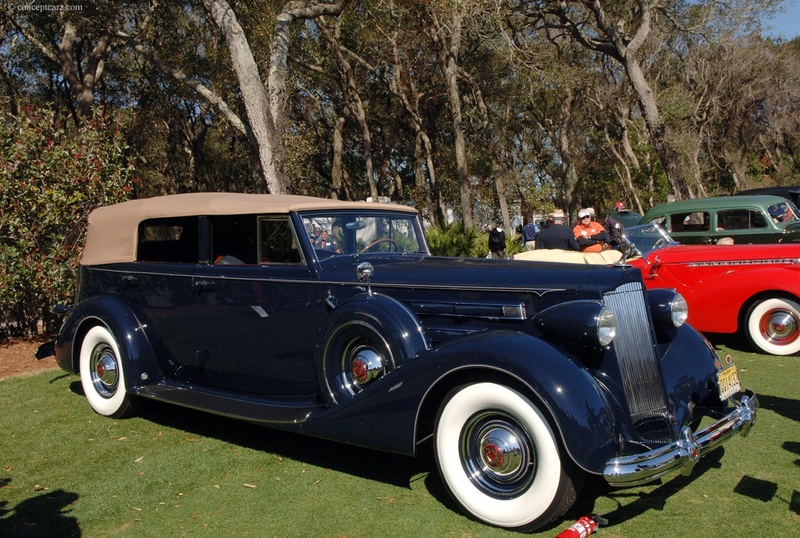 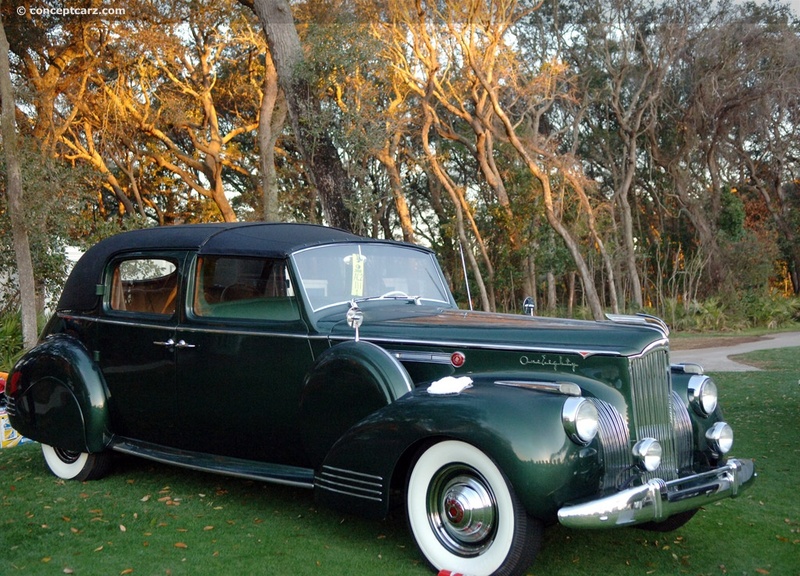 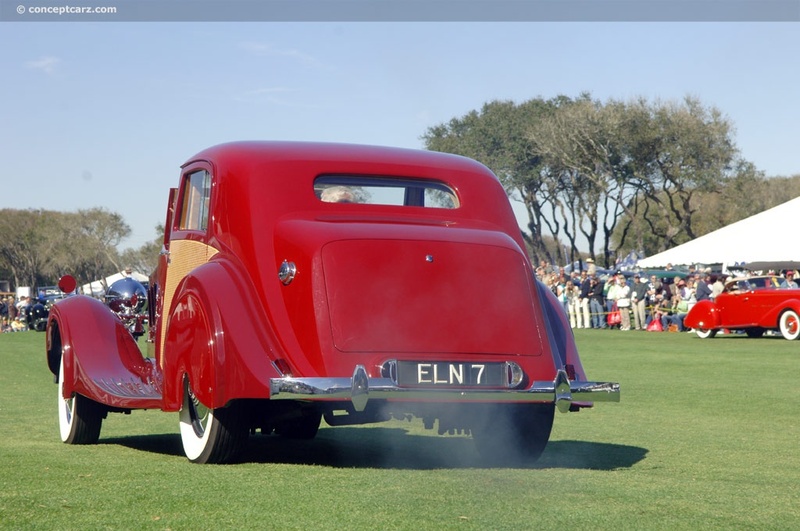 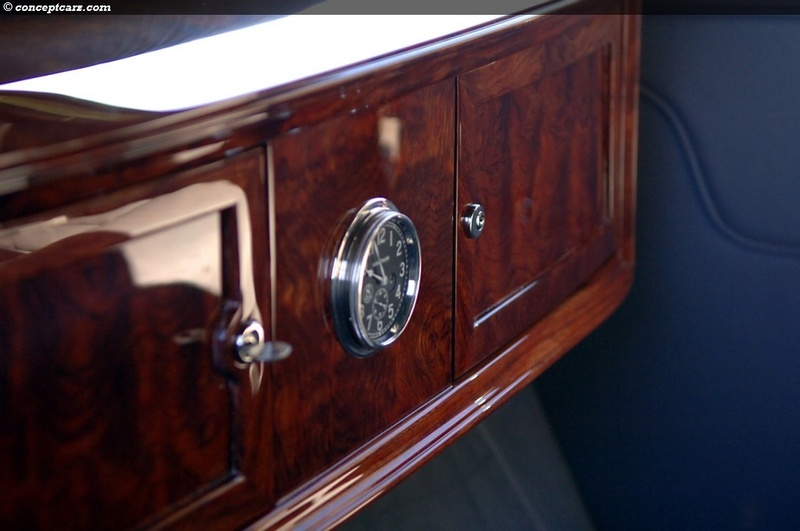 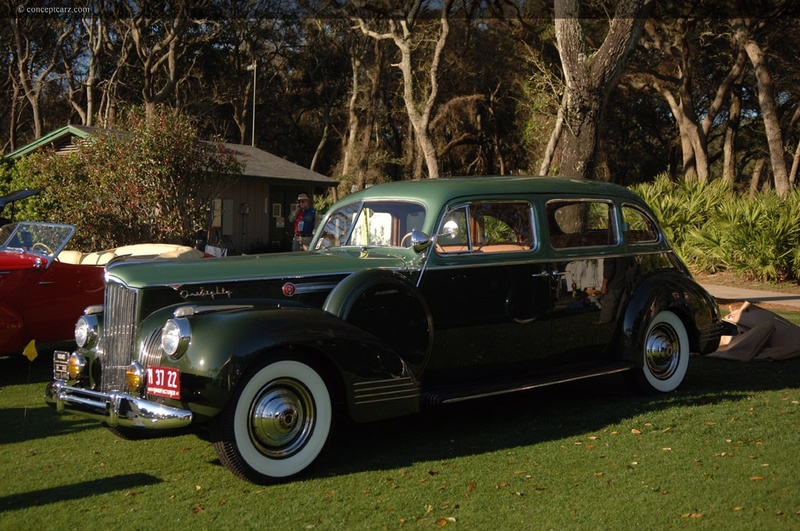 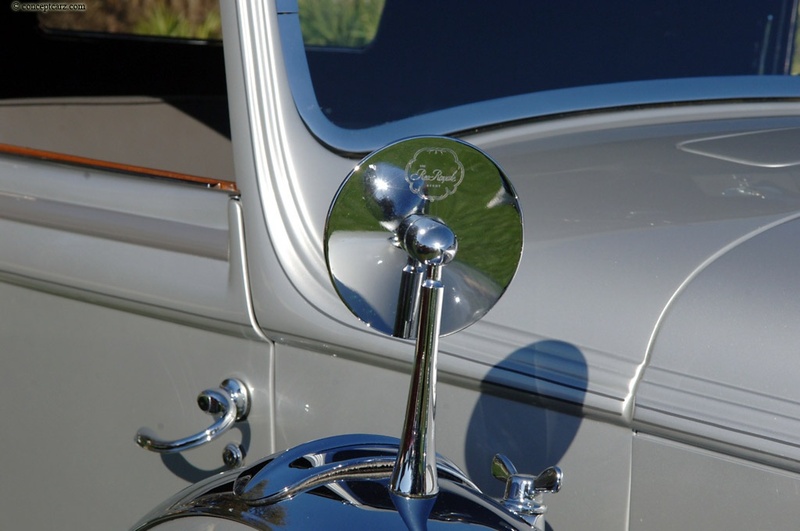 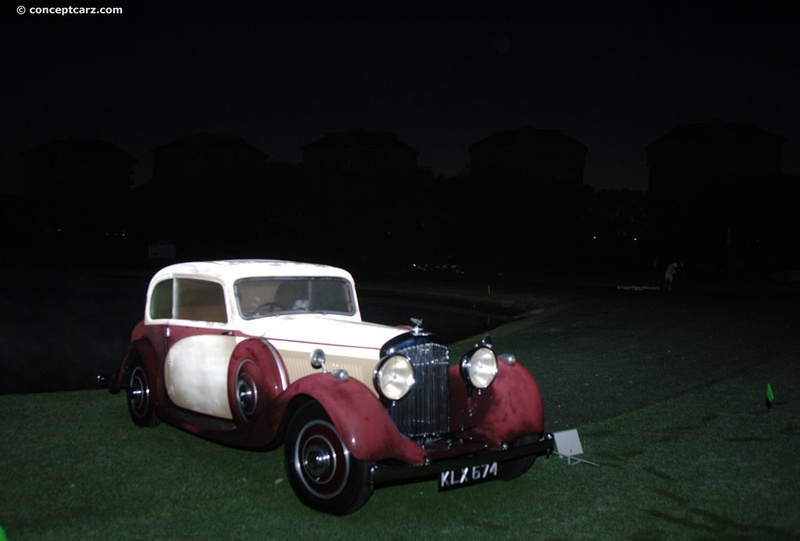 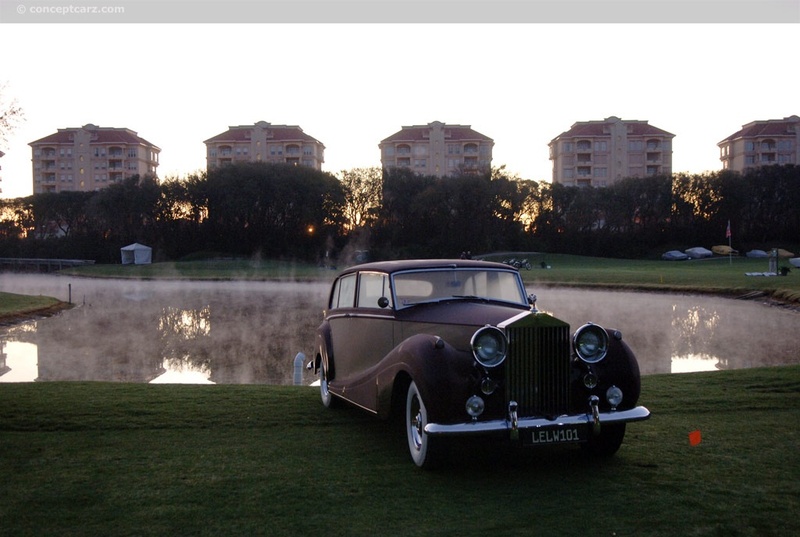 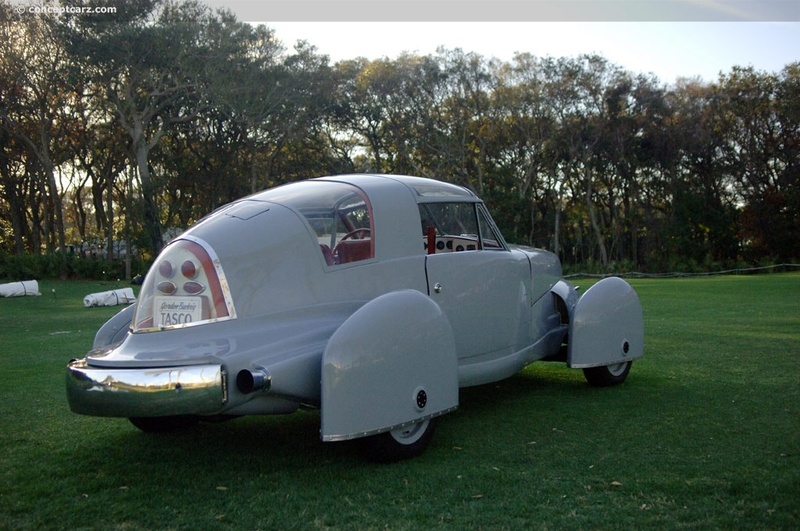 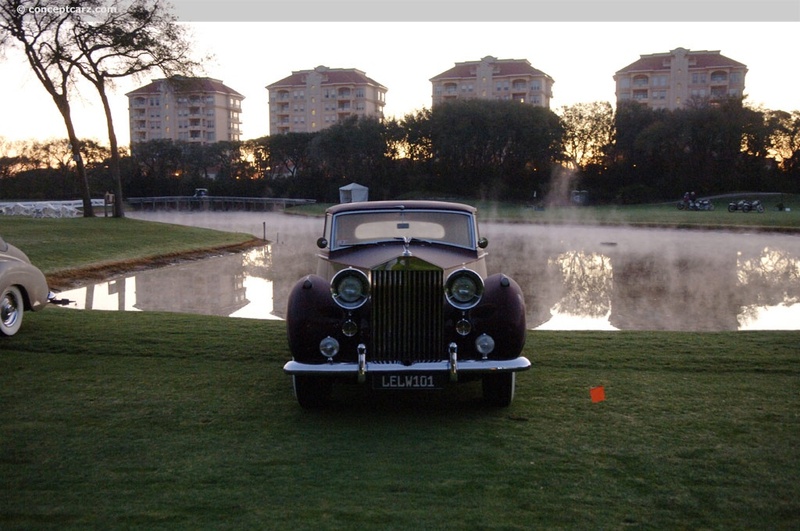 The Amelia Island Award for the most elegant formal sedan or town car went to the 1938 Rolls-Royce Phantom III. 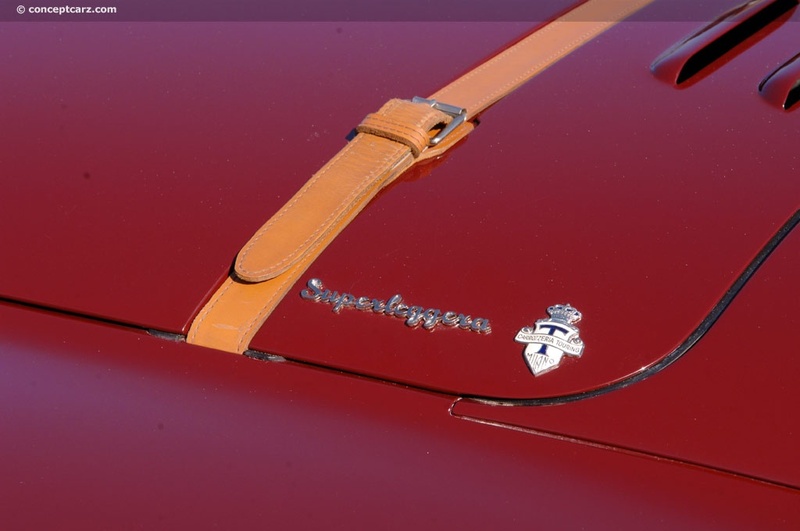 Arguably one of the most important awards, the DuPont Registry's Choice Award, is an award chosen by the vote of the people. 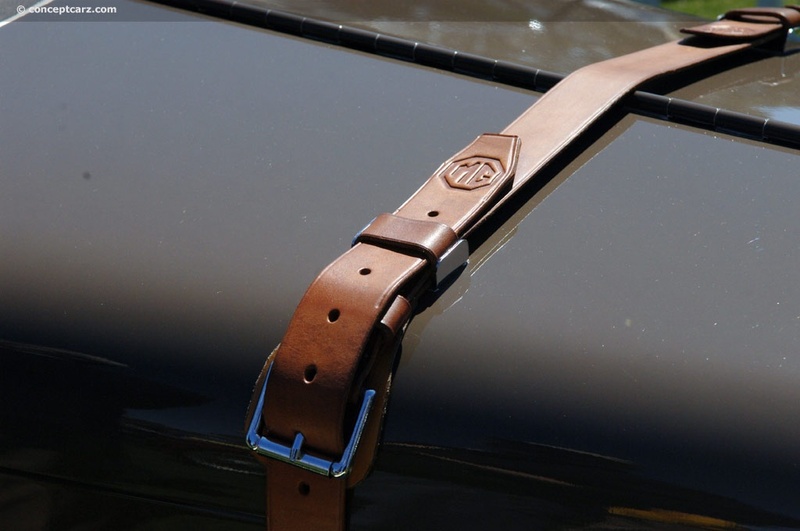 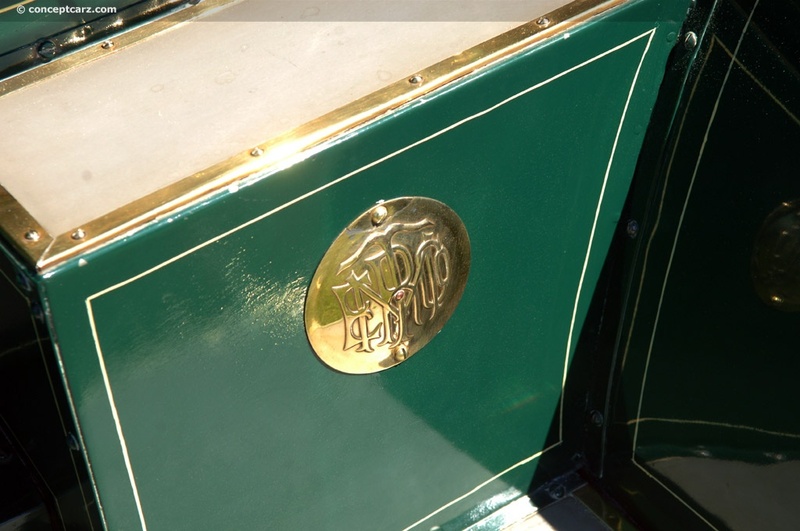 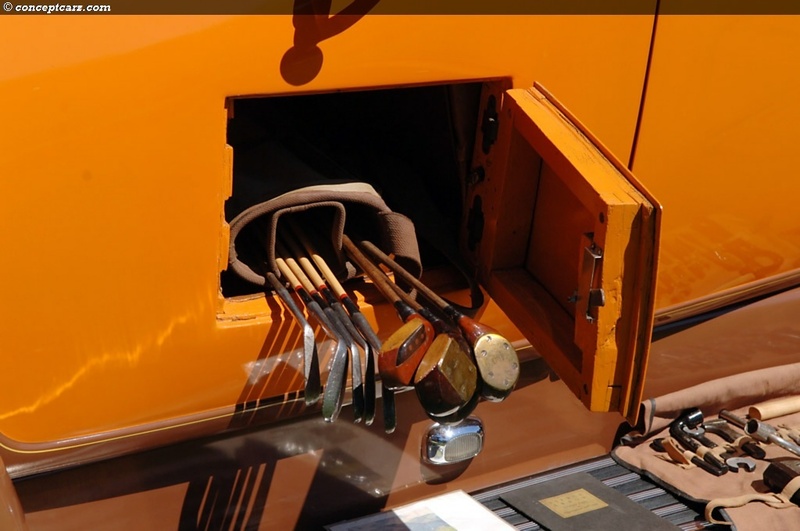 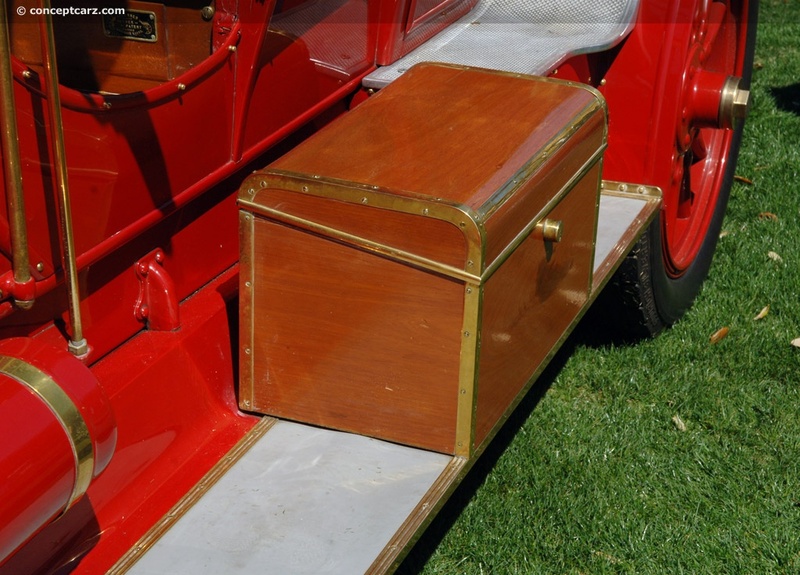 Each visitor is allowed to select their favorite vehicle, with the most popular getting this treasure. 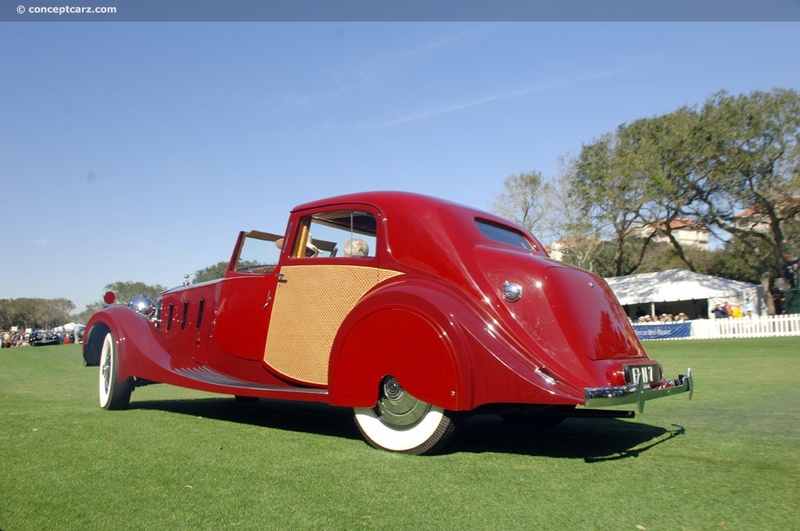 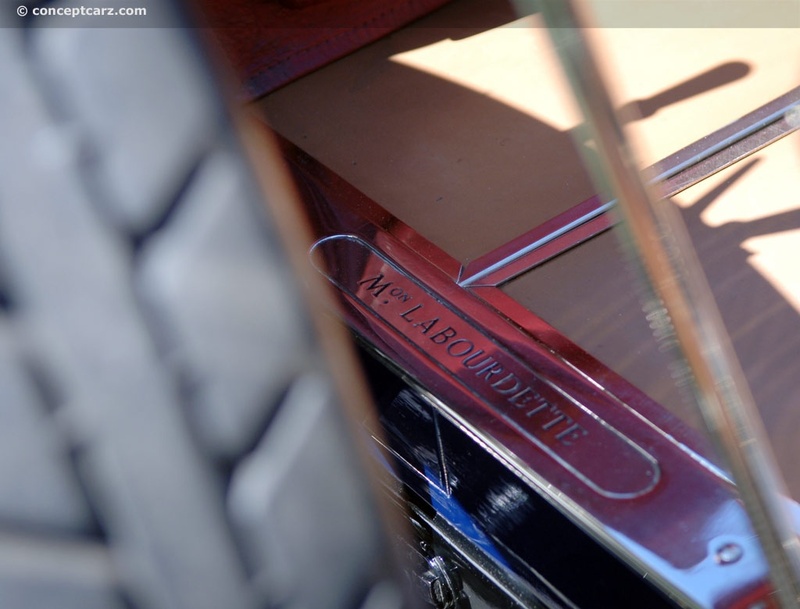 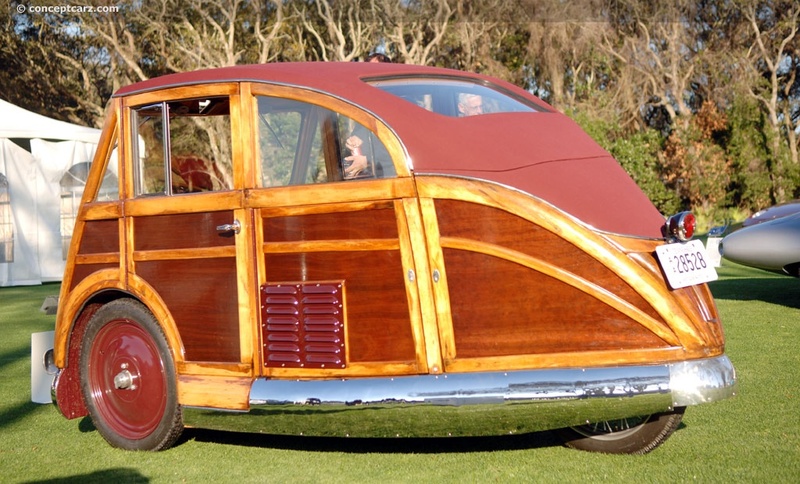 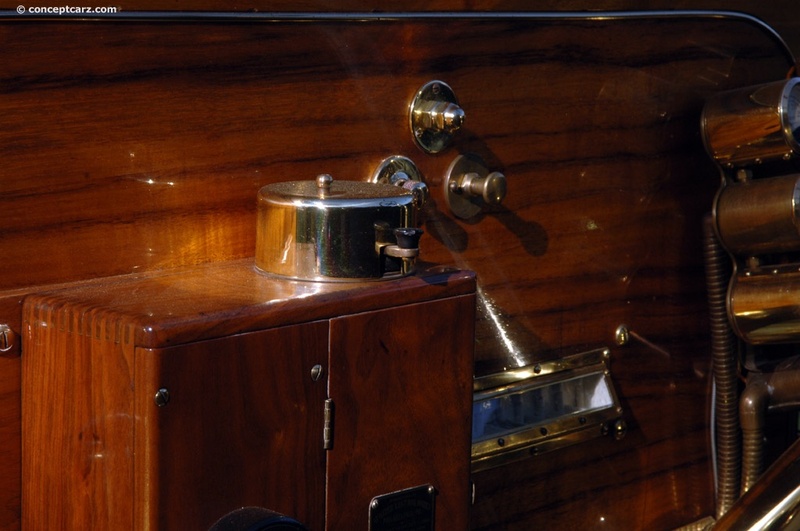 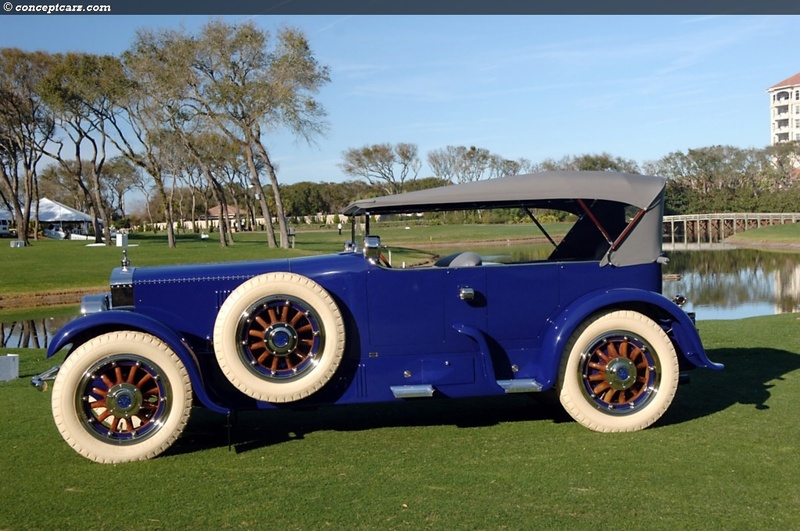 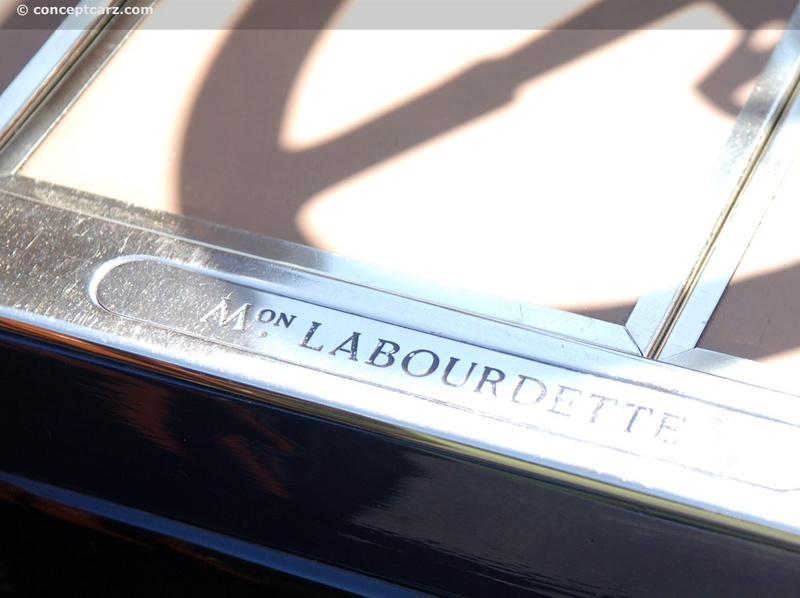 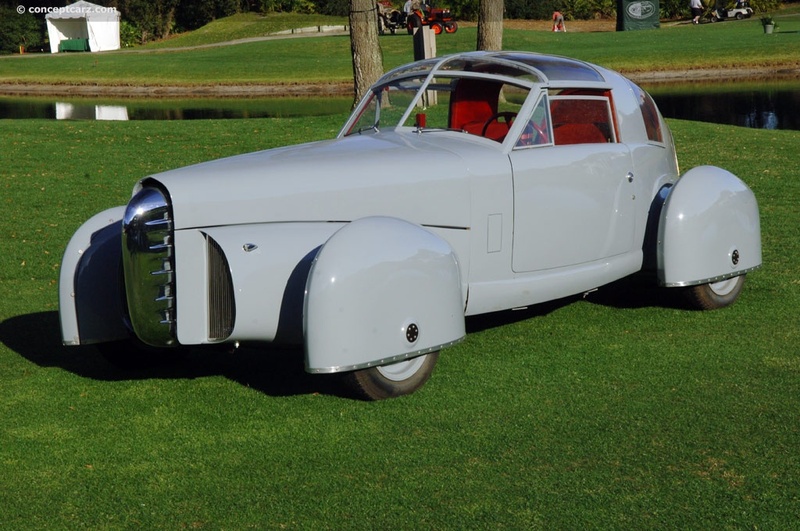 The people chose the very flamboyant and striking Rolls-Royce Phantom III Vutotal with coachwork by the renowned French coachbuilder Labourdette. 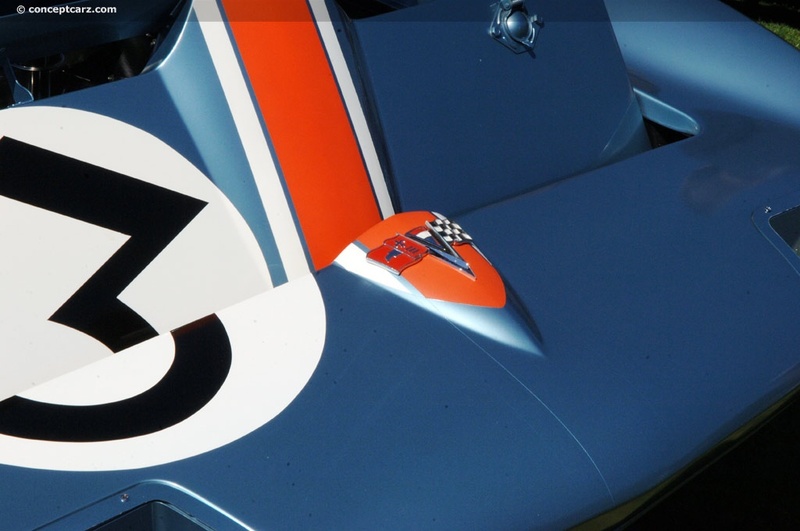 It is a car that instantly strikes very strong emotions wherever it goes, and is considered by many to be a rolling work of art. 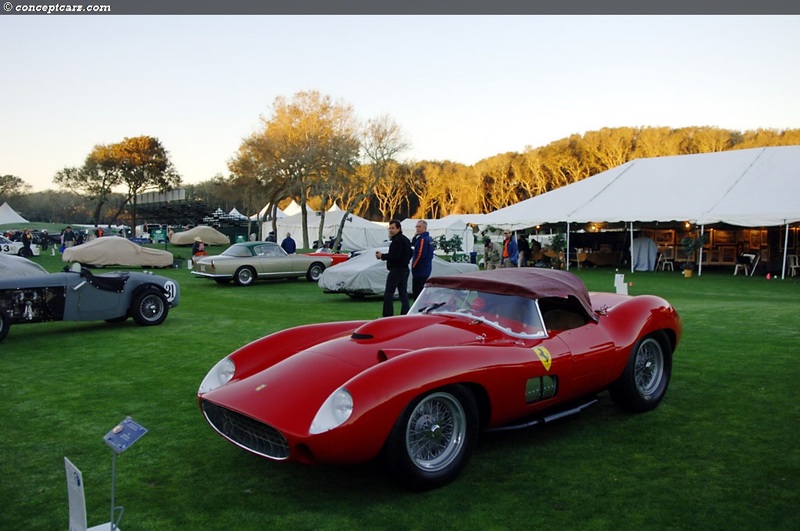 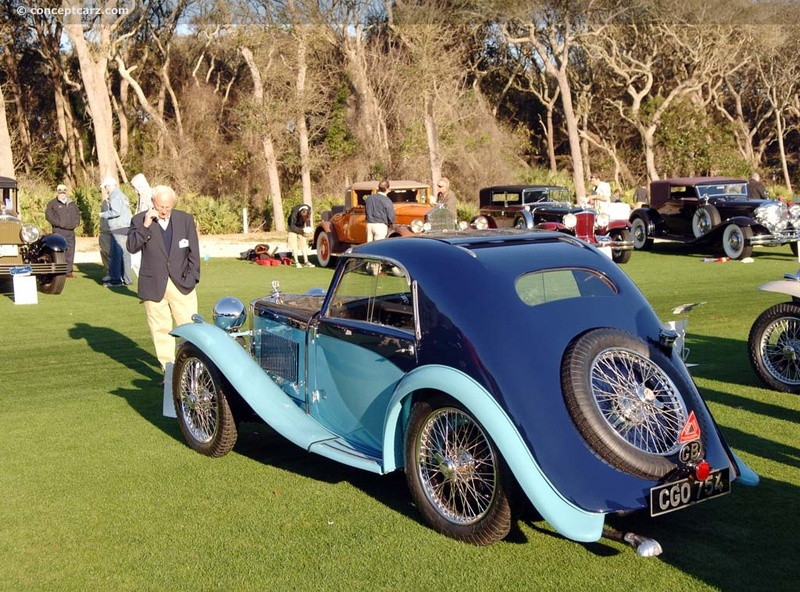 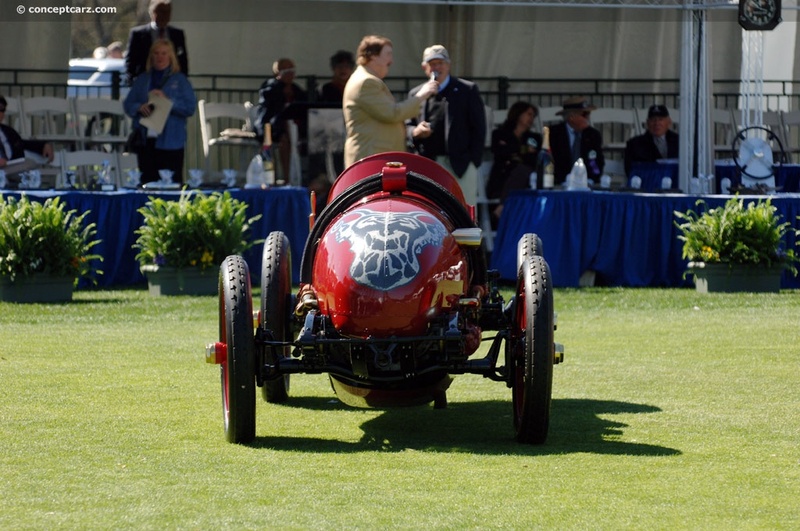 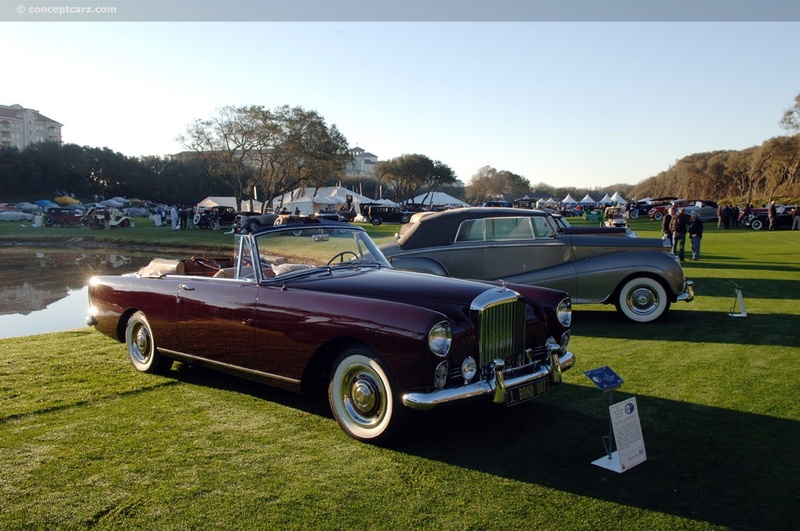 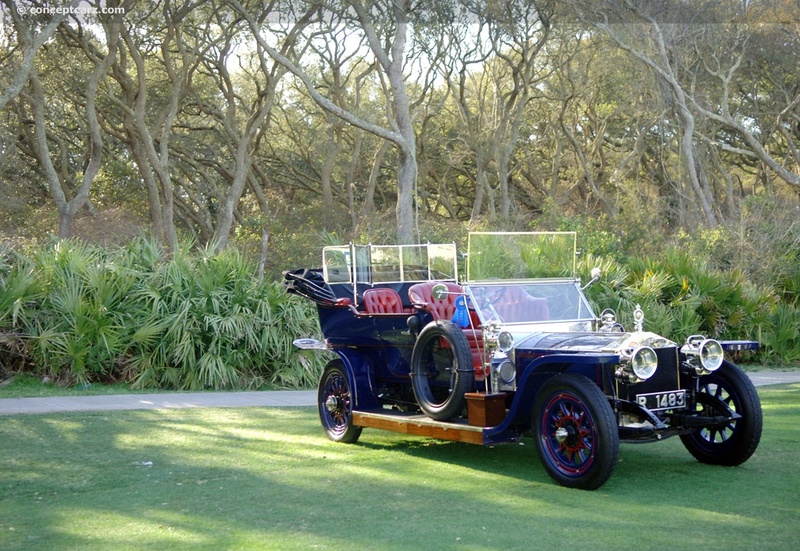 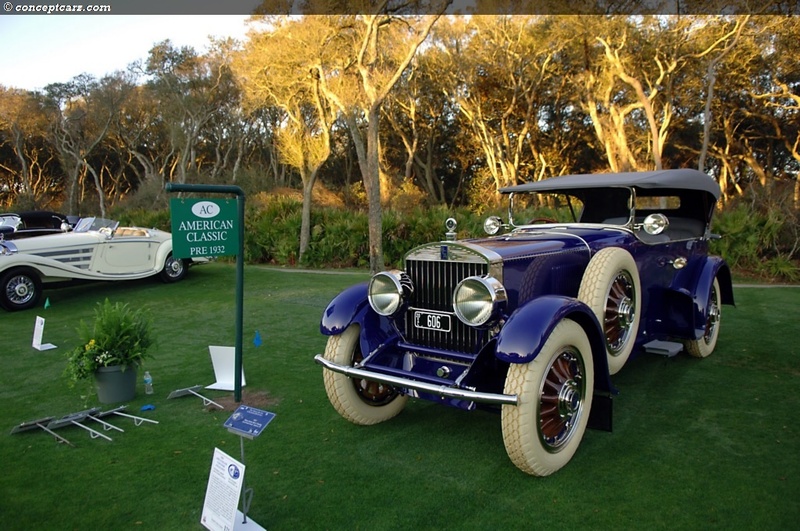 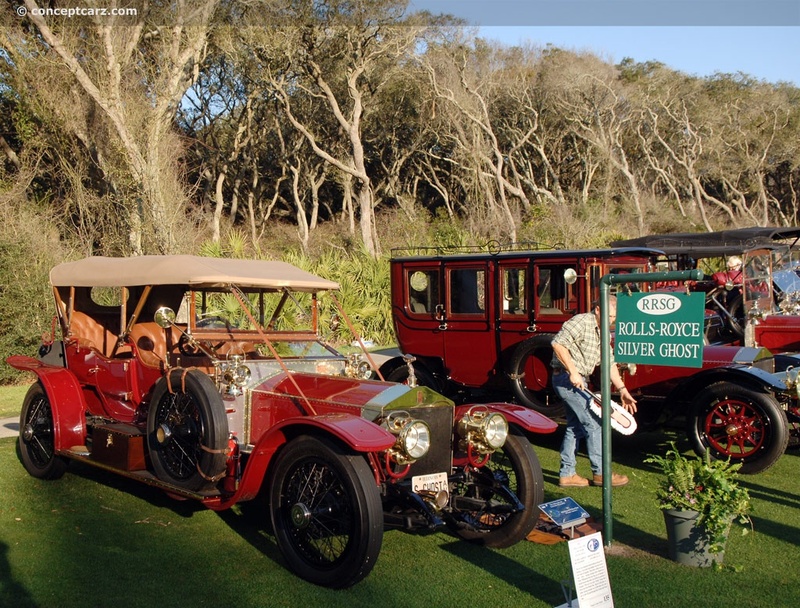 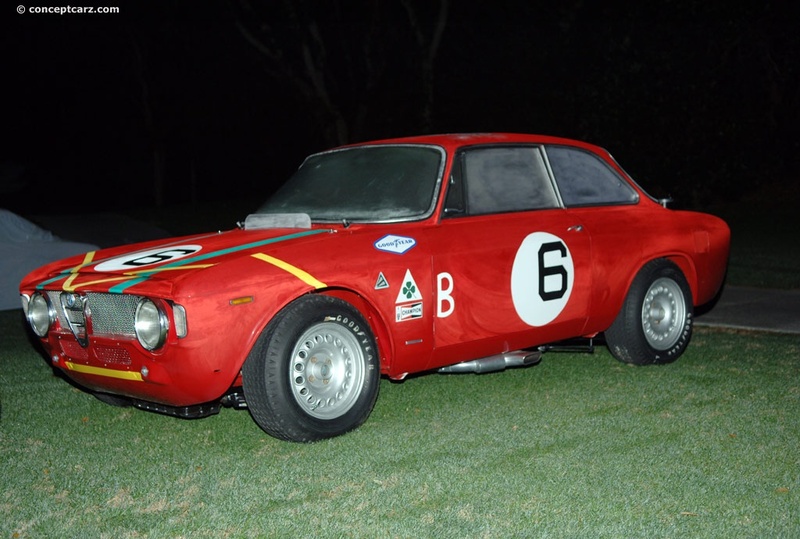 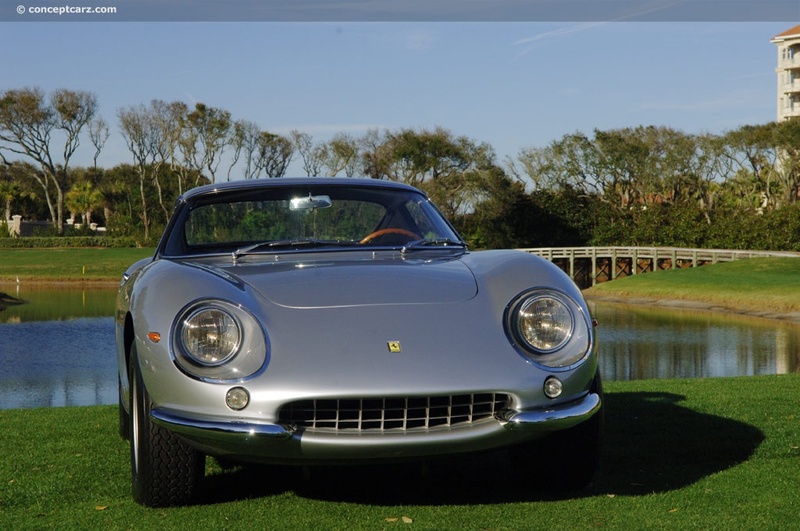 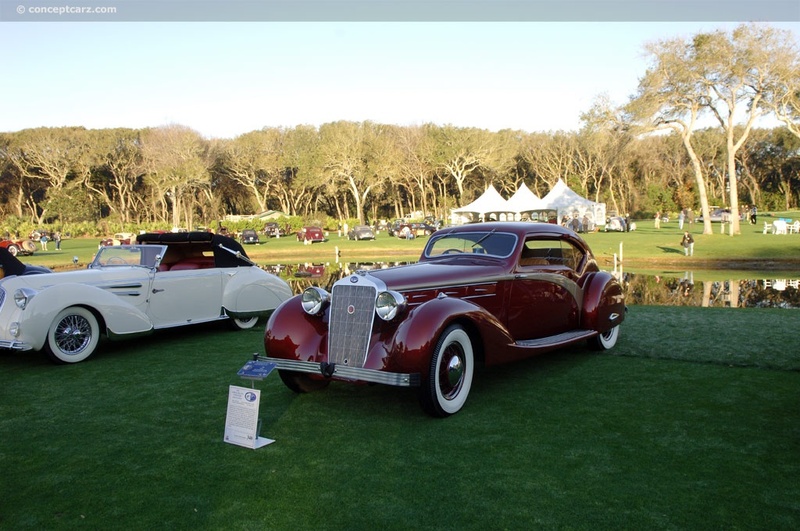 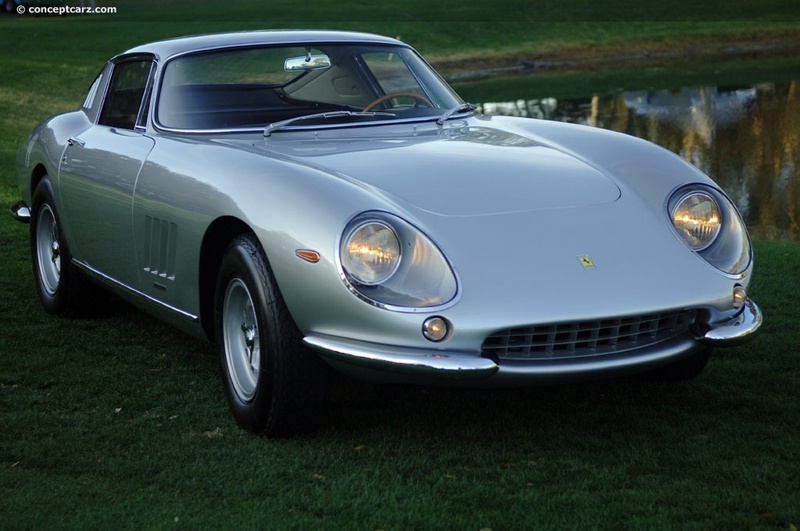 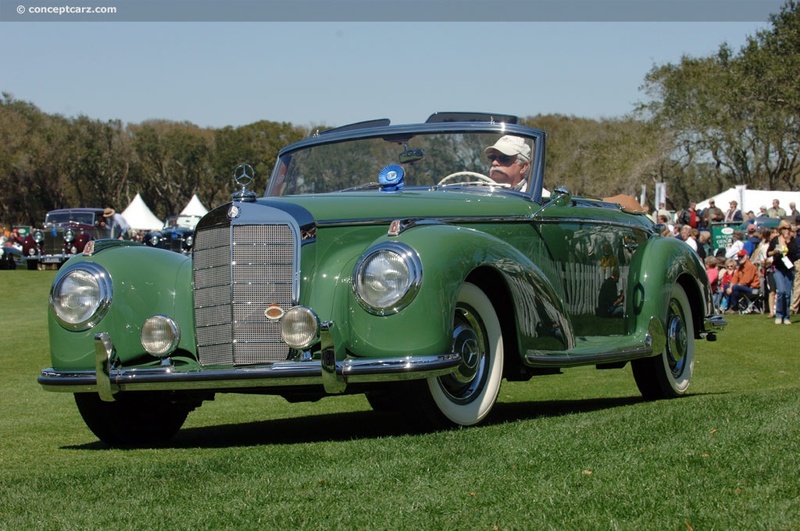 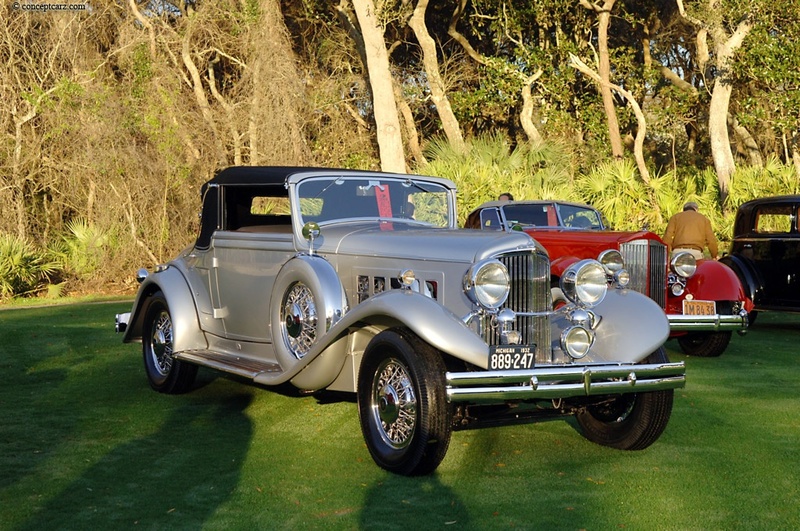 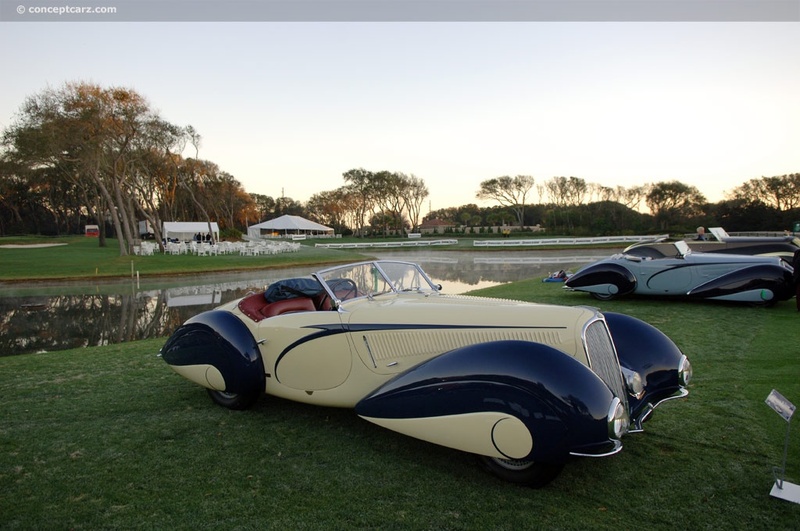 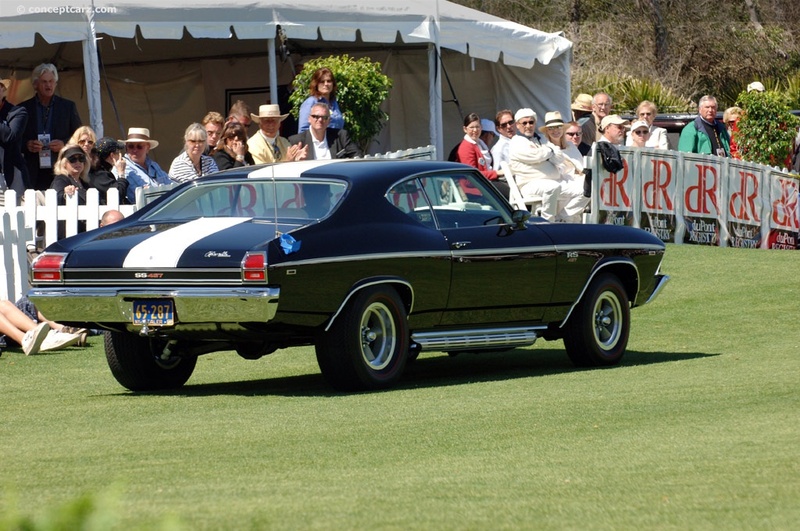 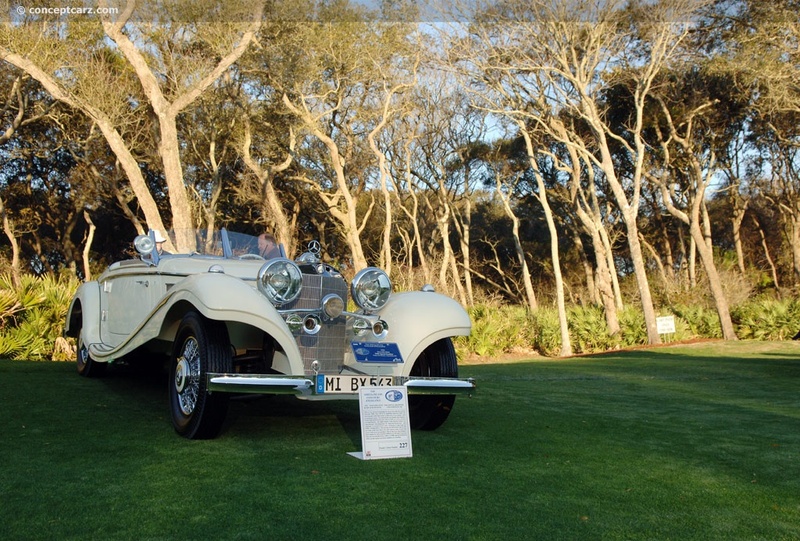 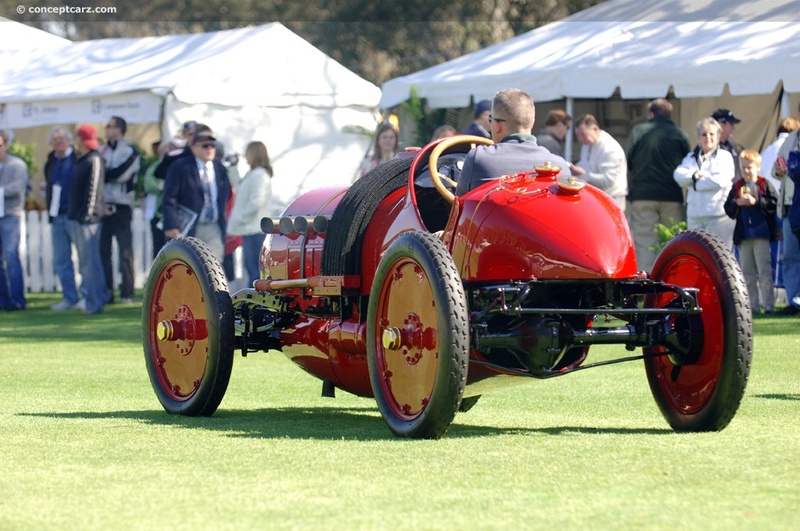 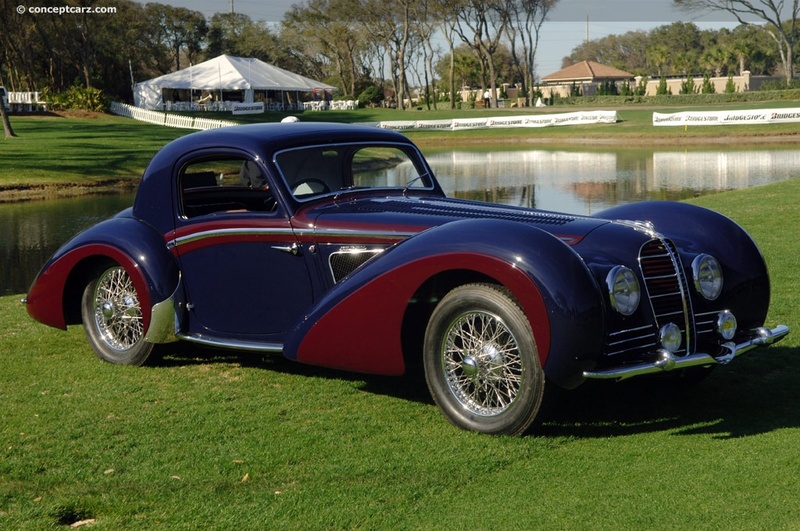 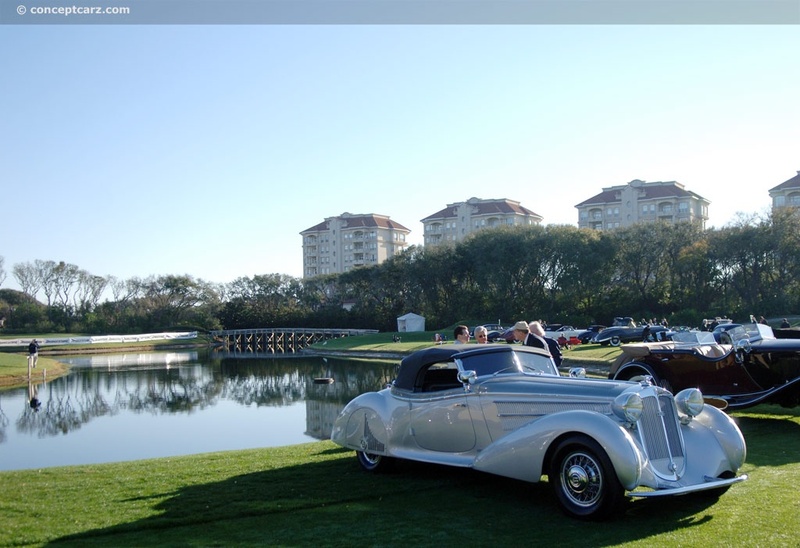 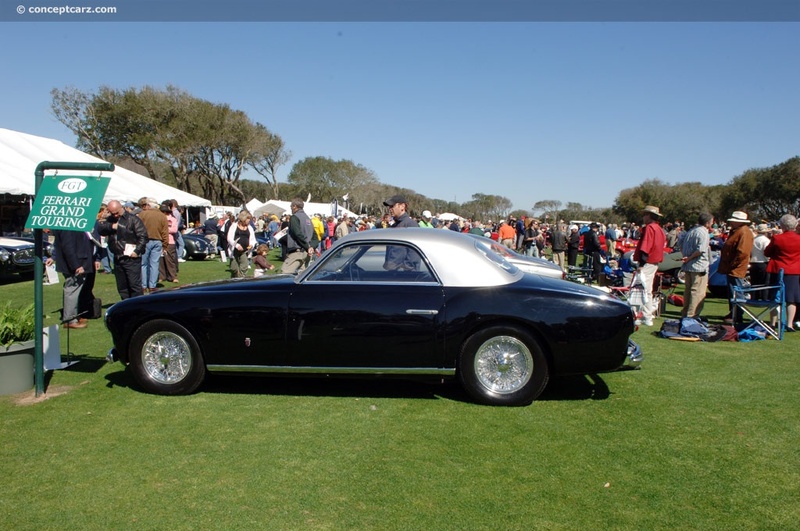 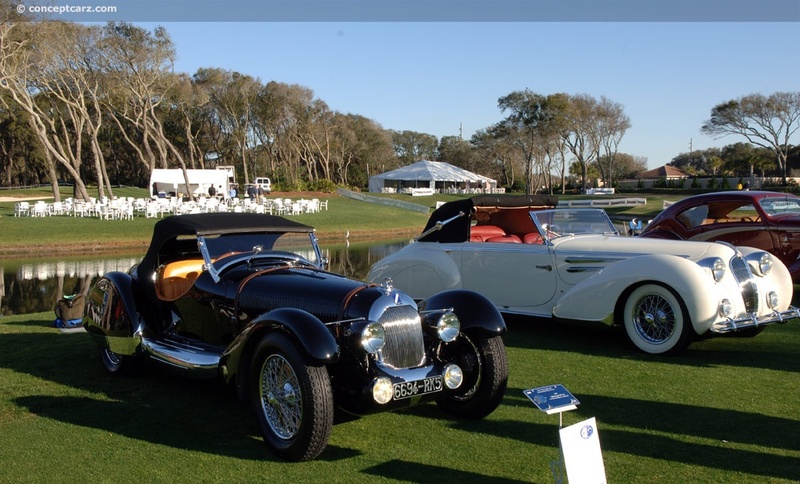 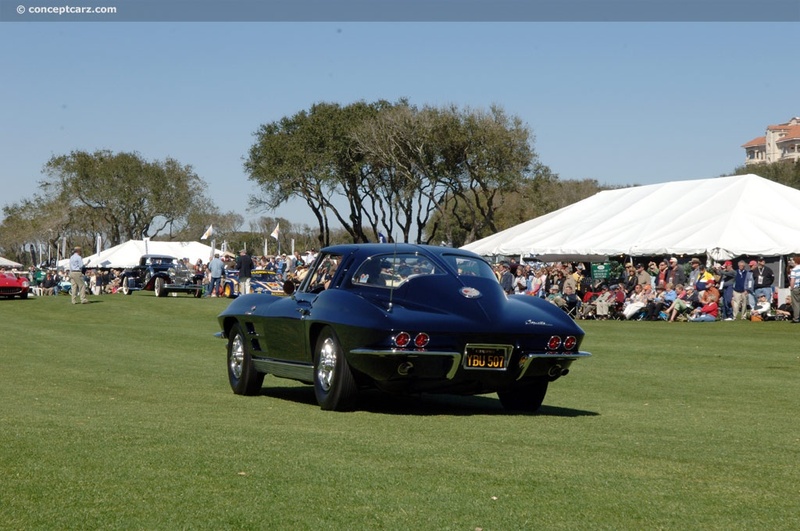 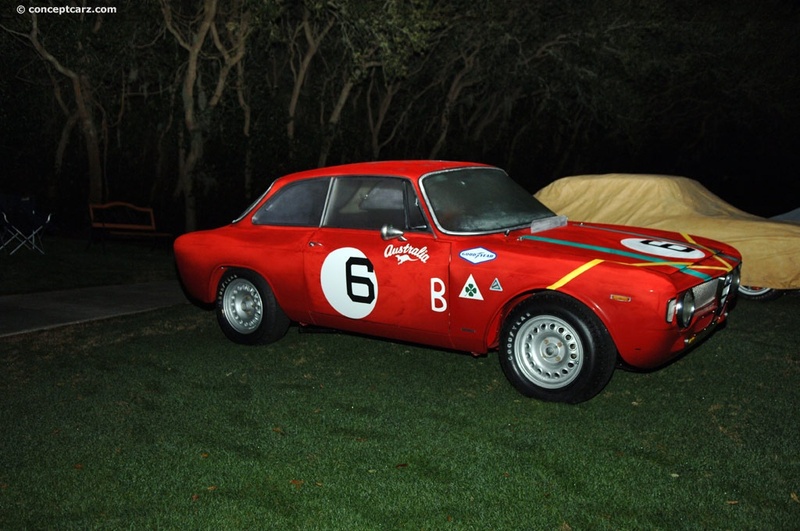 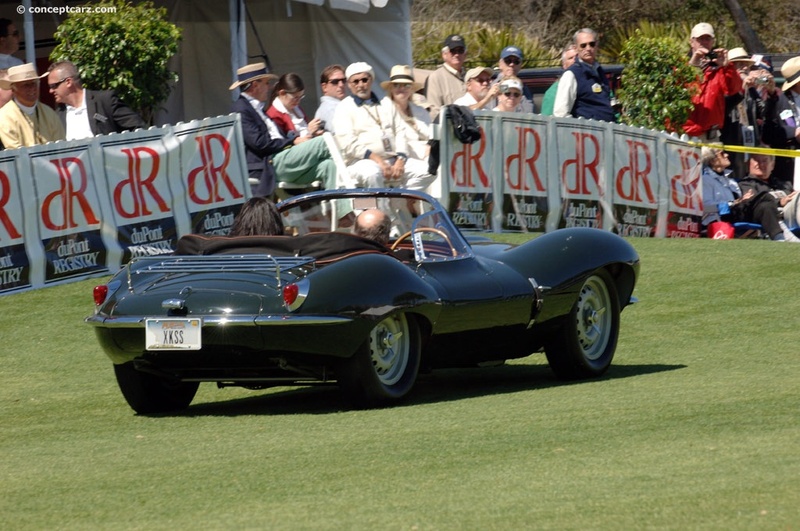 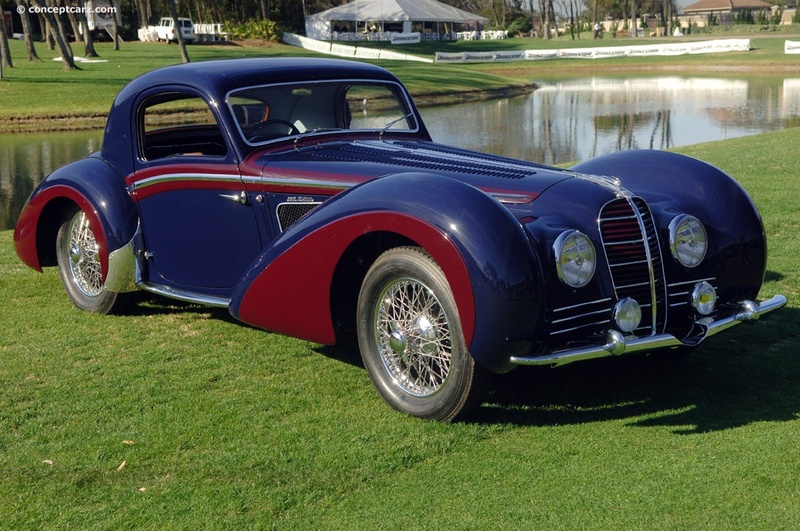 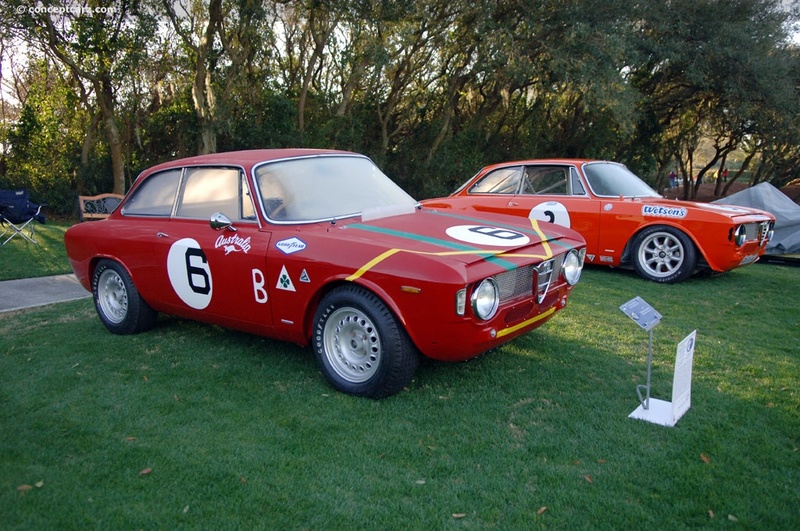 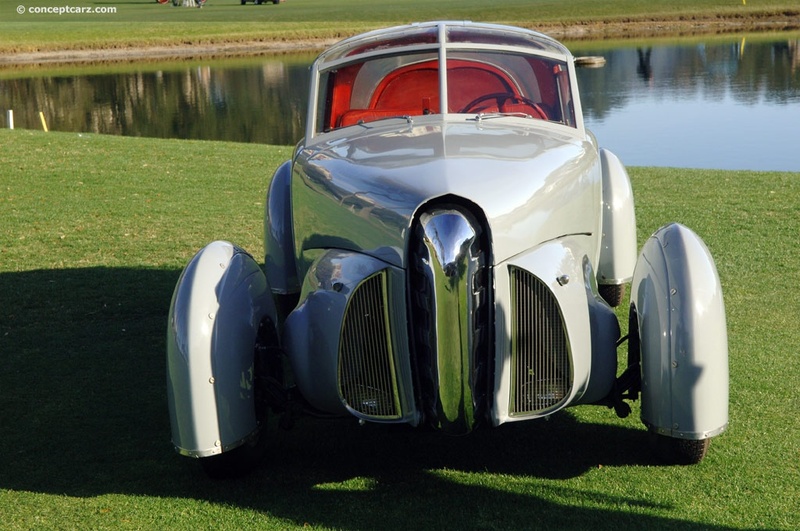 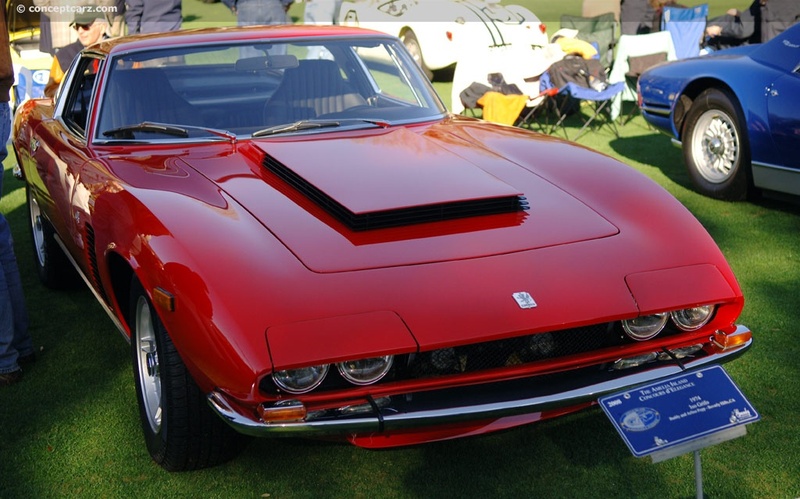 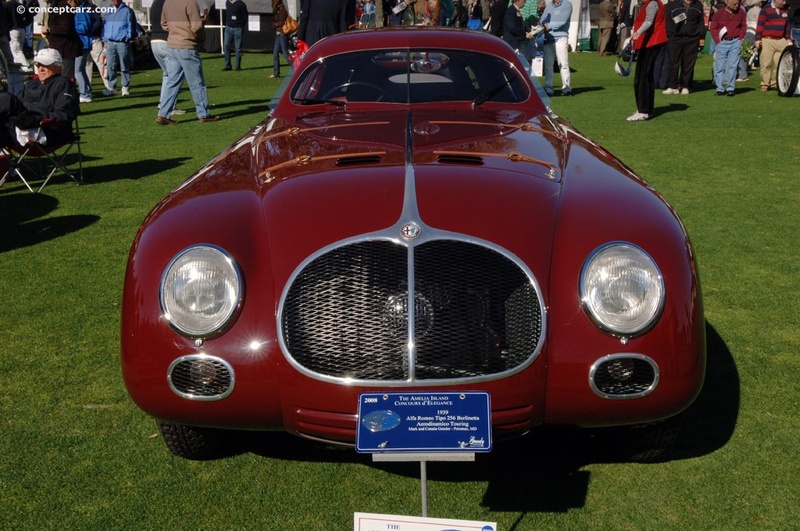 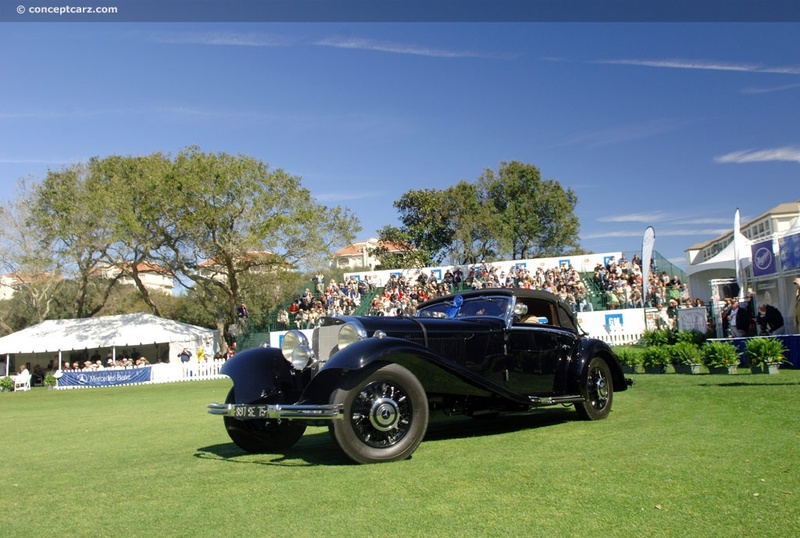 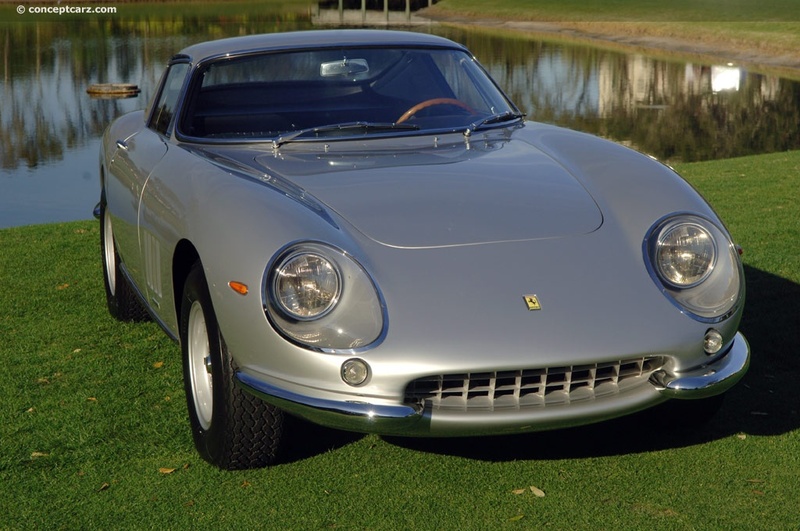 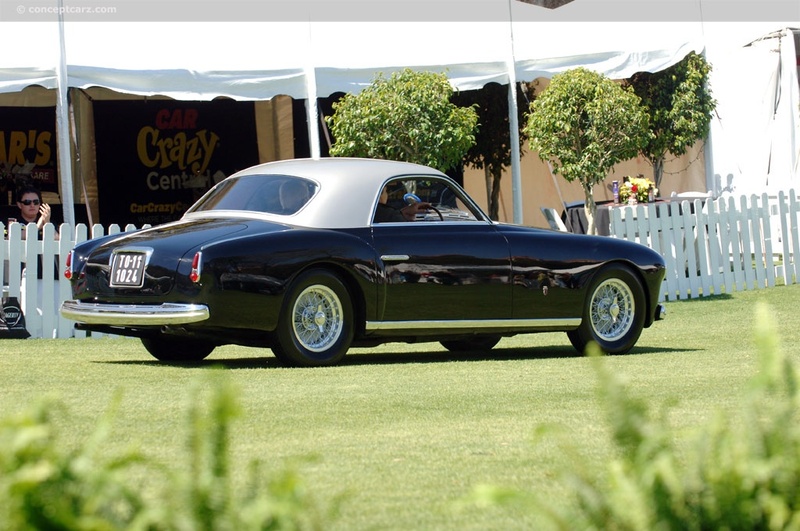 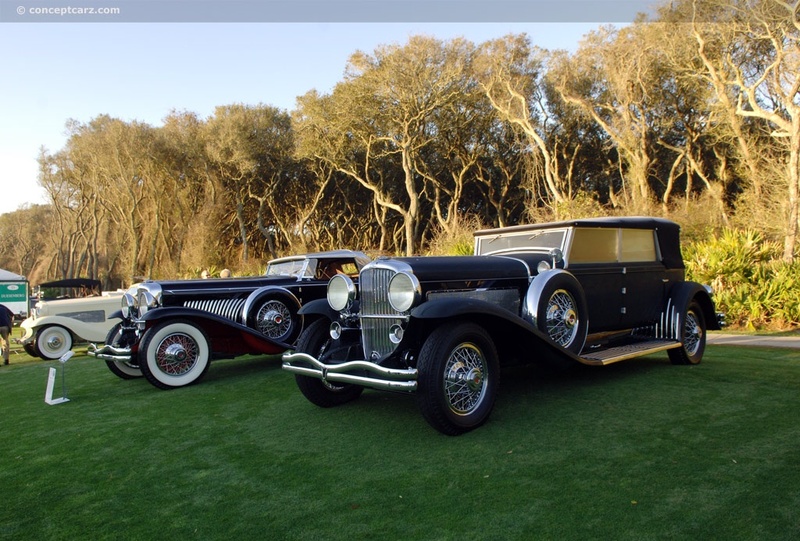 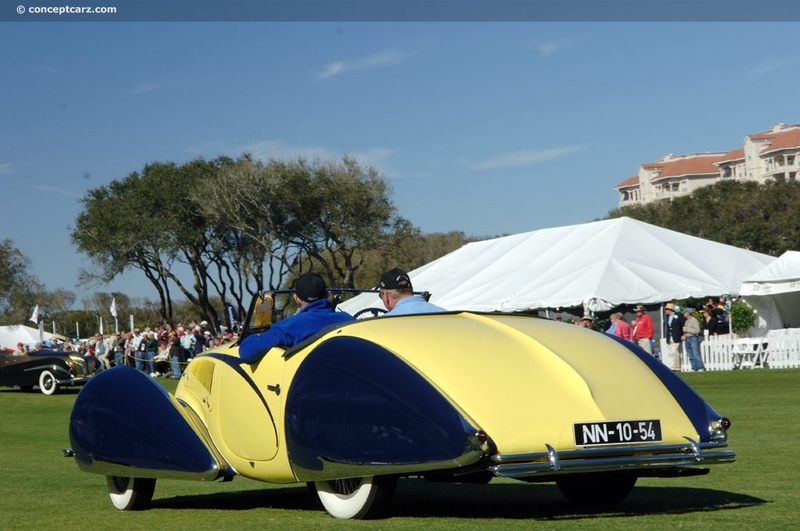 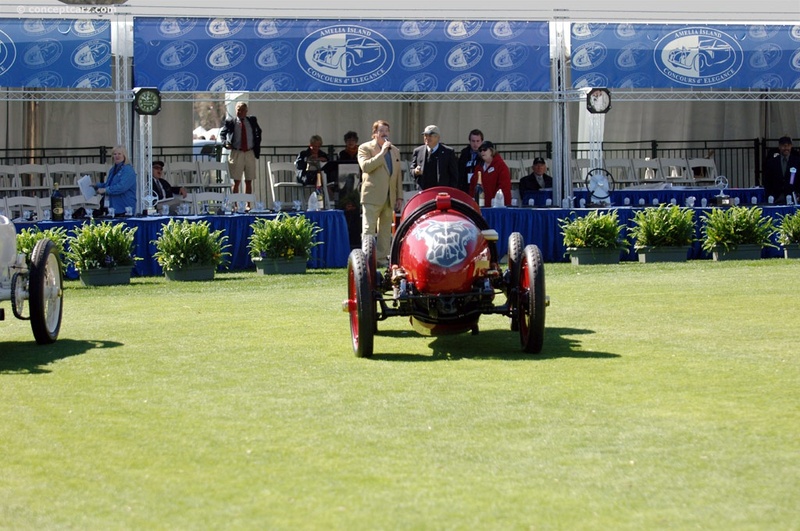 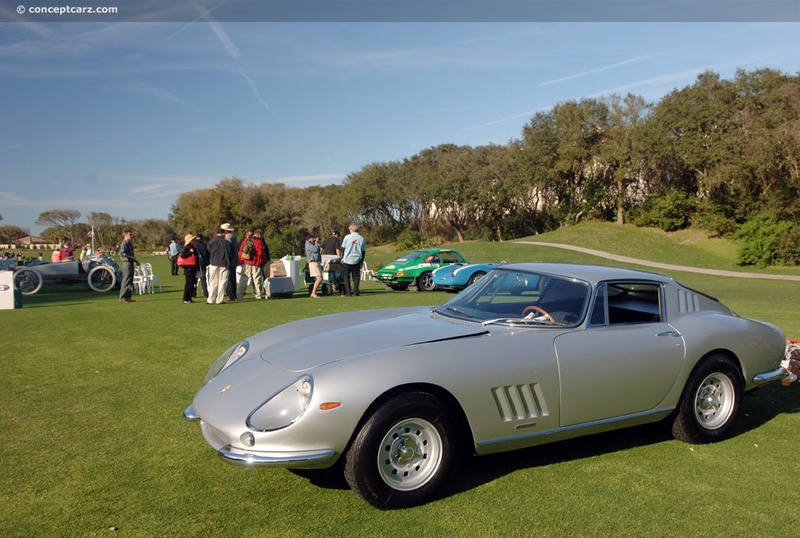 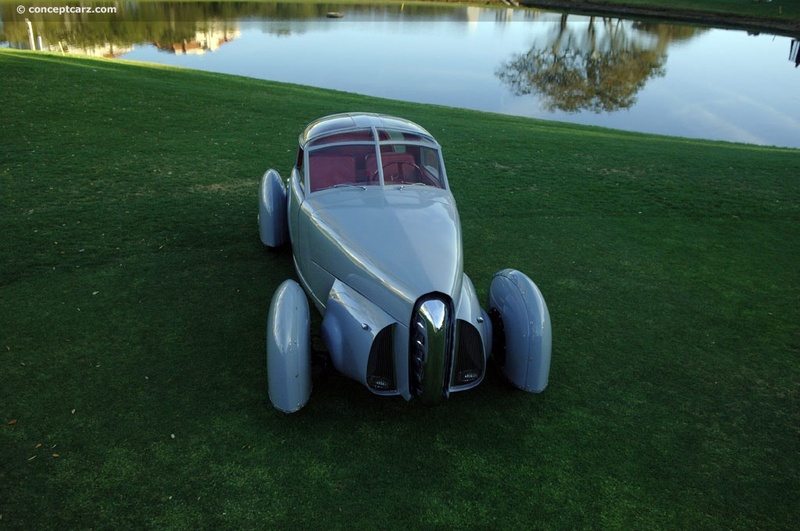 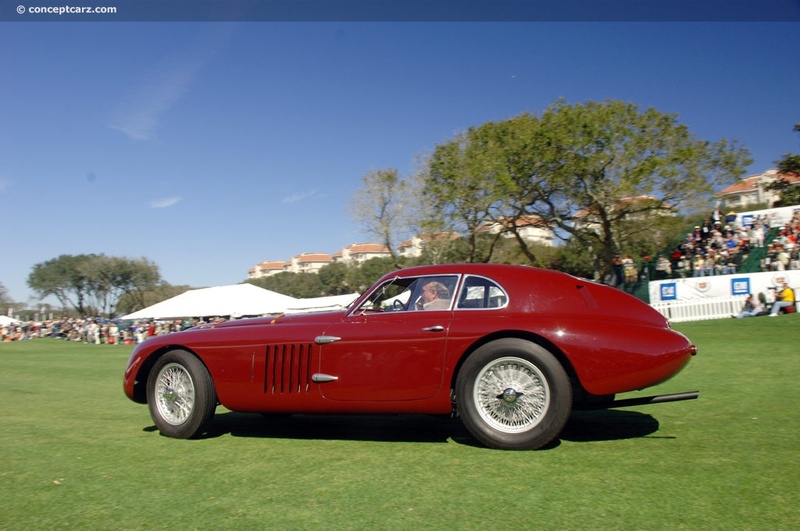 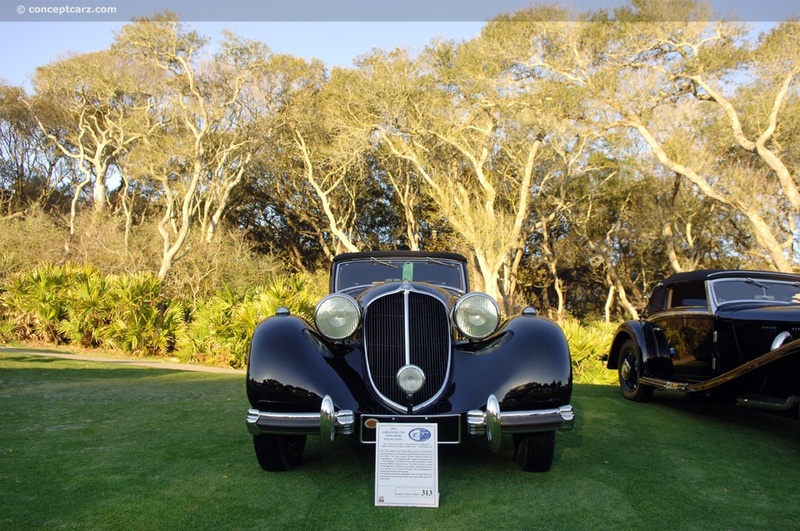 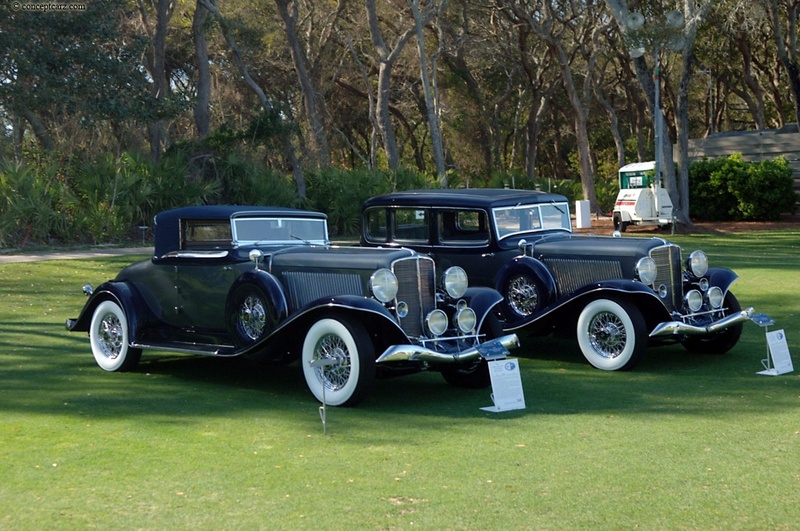 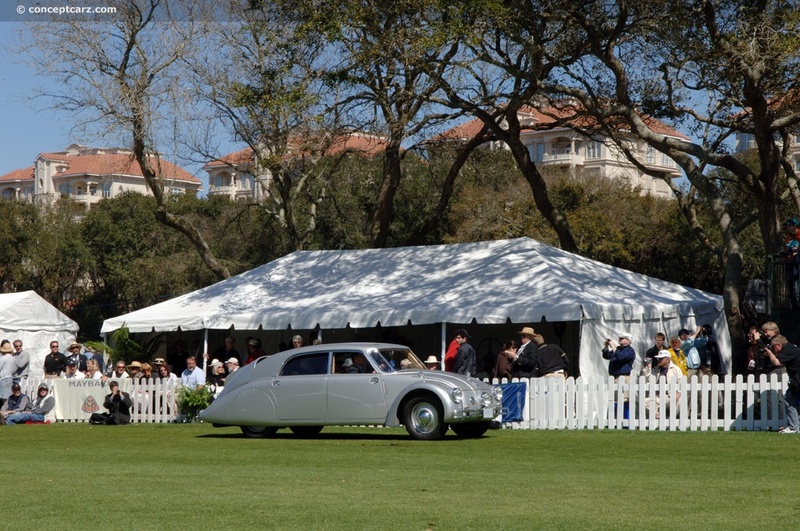 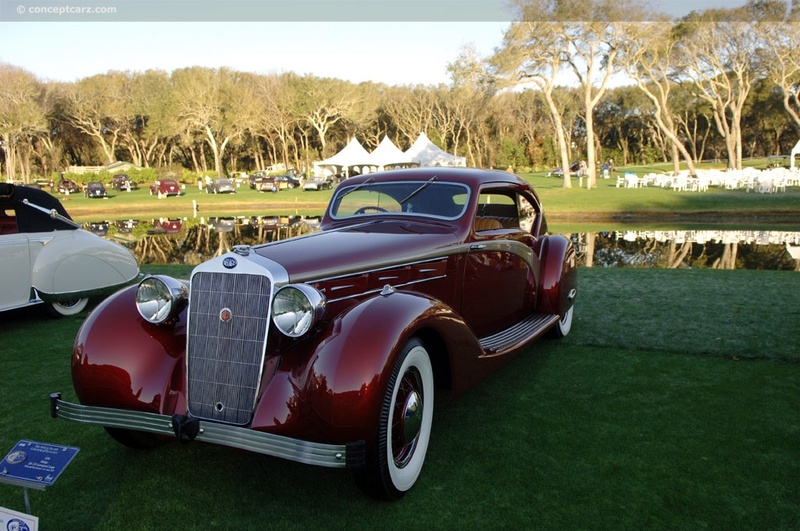 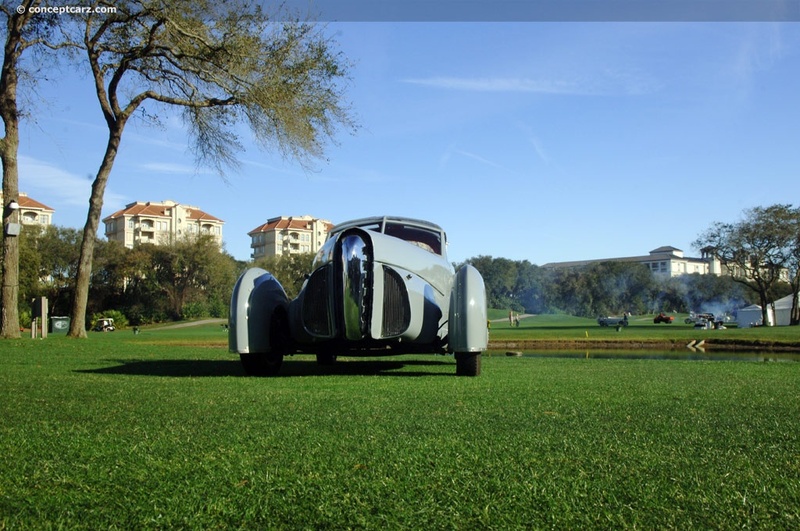 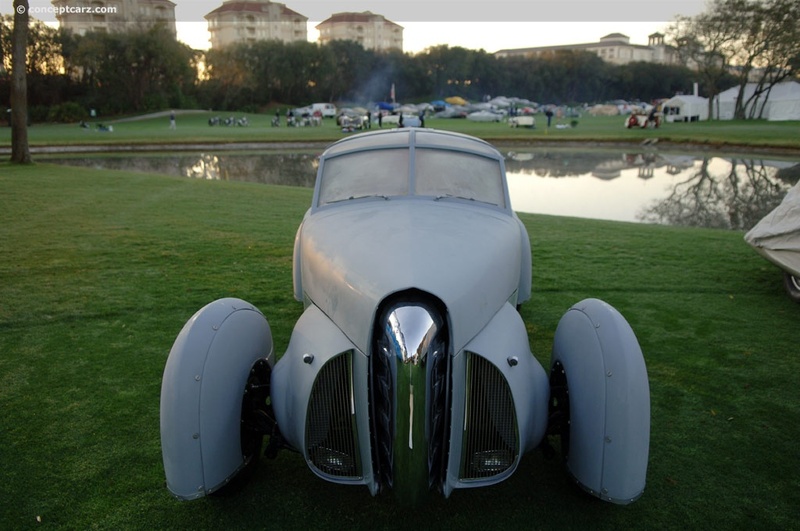 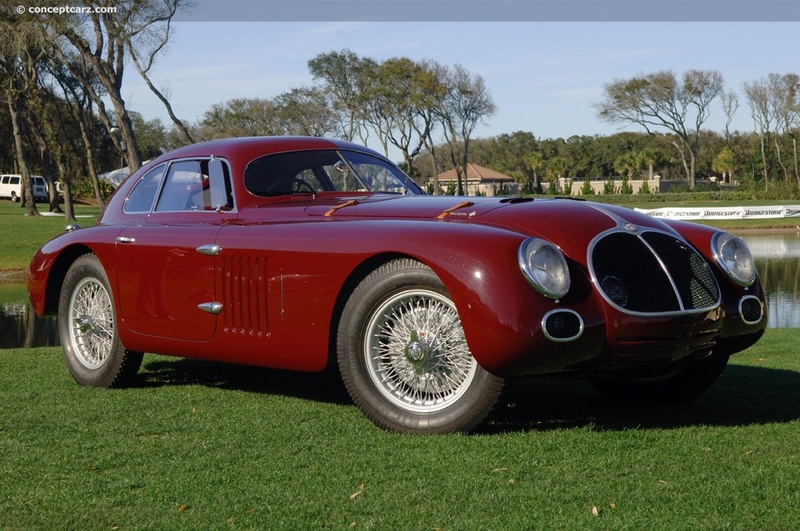 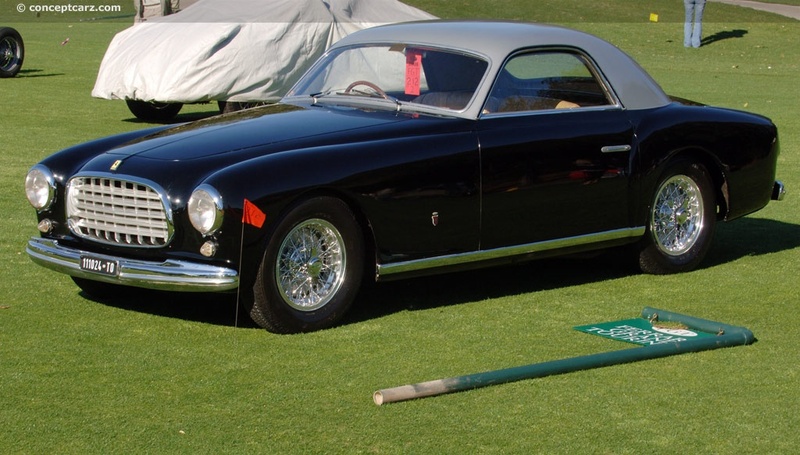 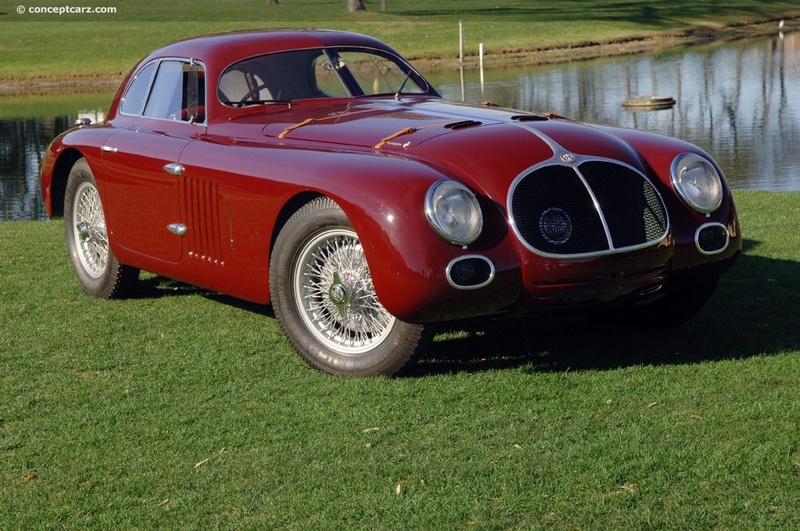 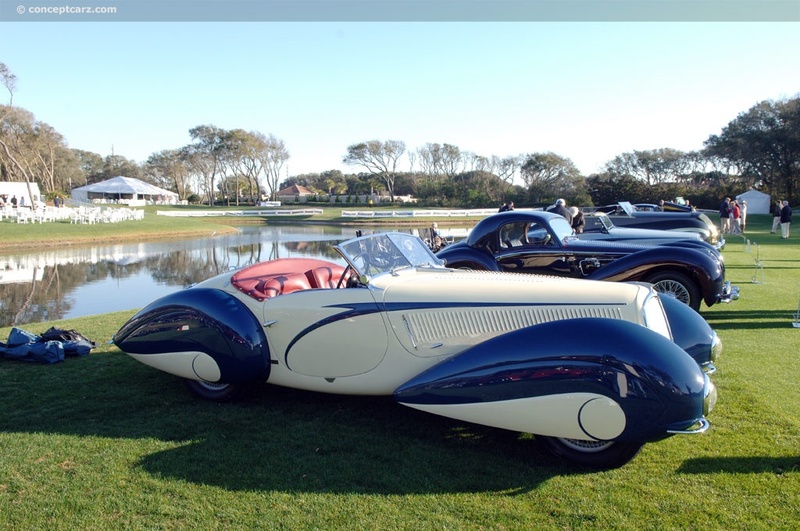 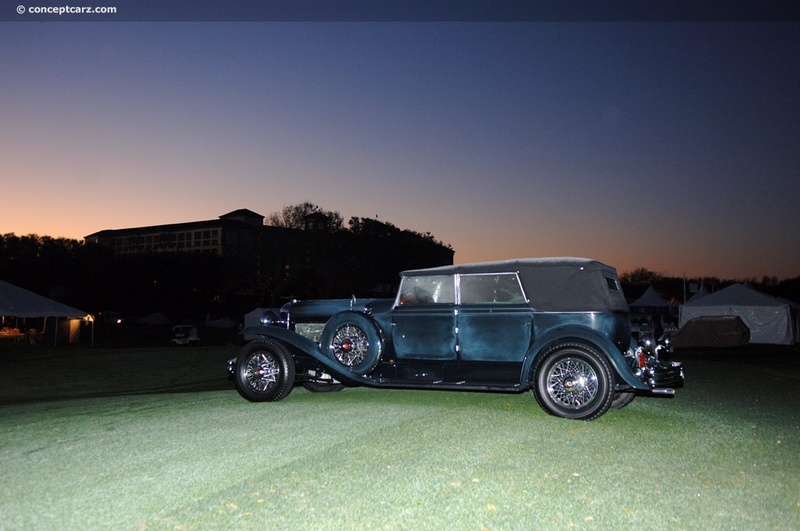 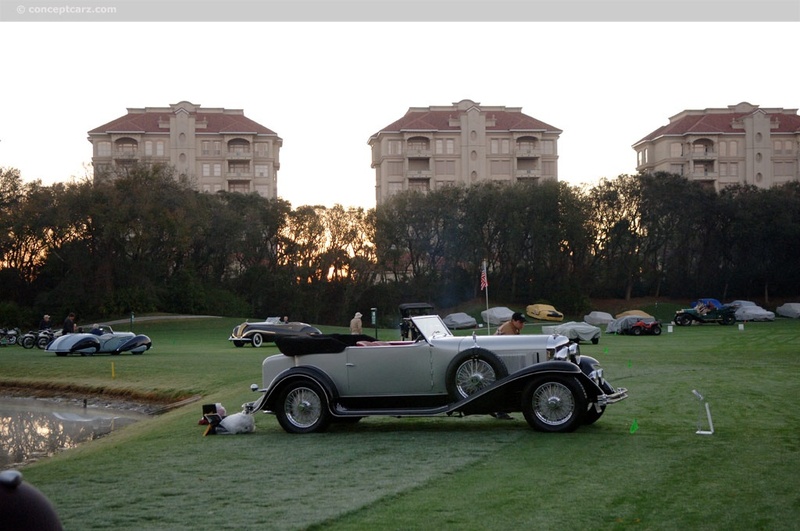 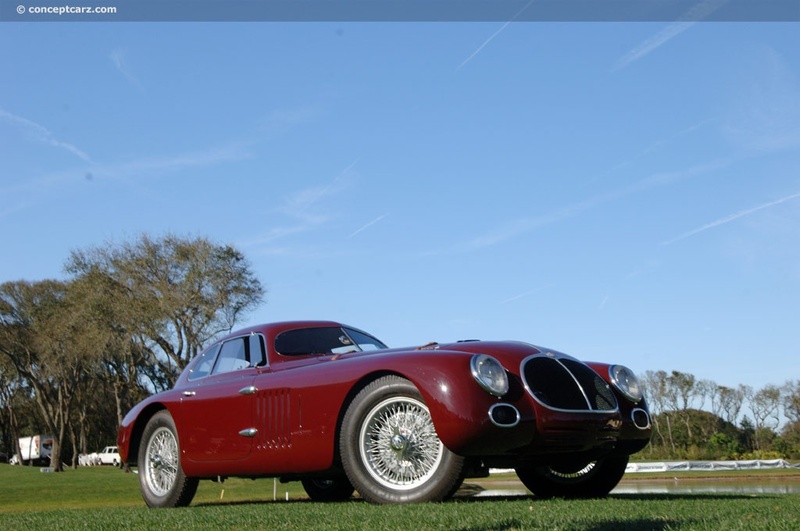 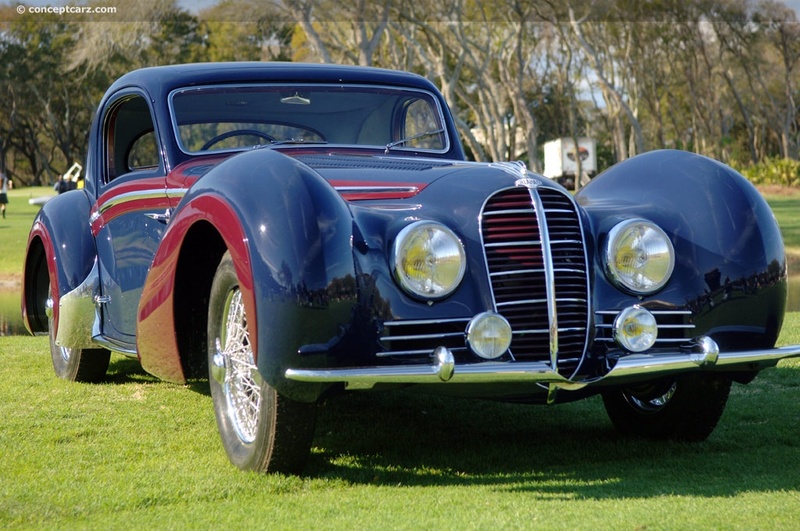 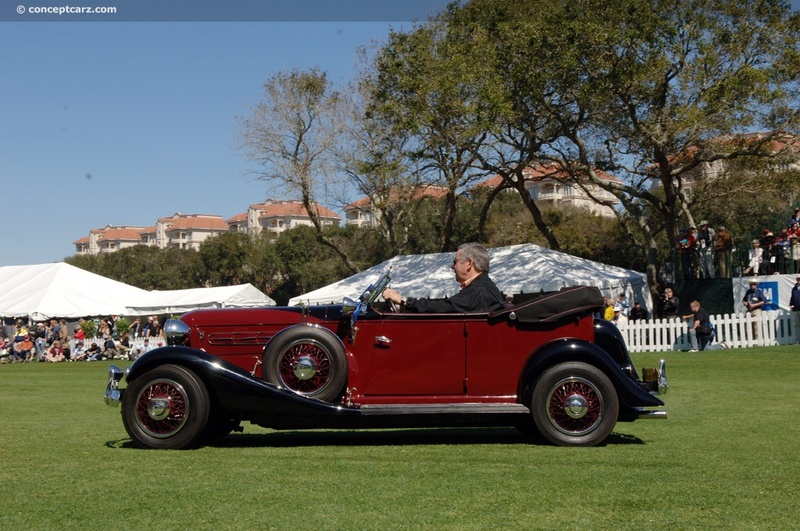 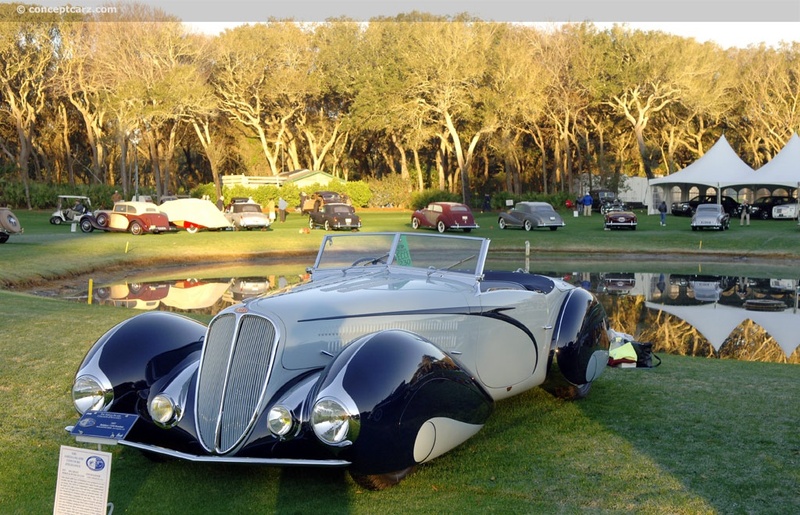 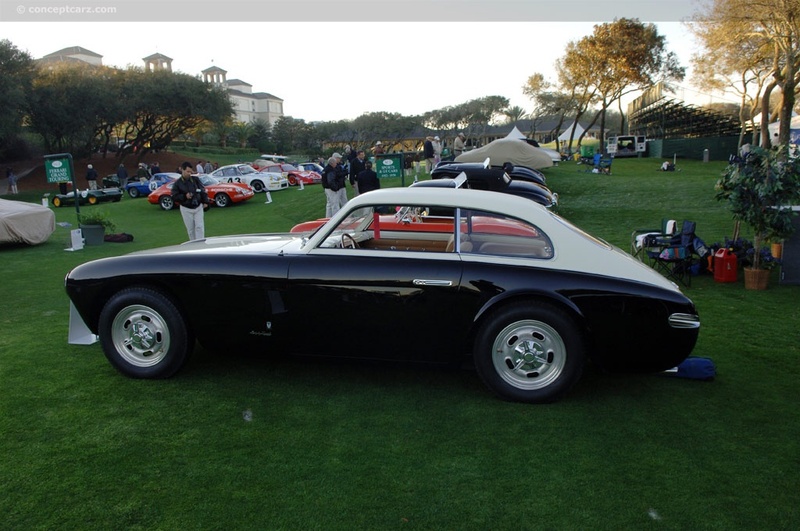 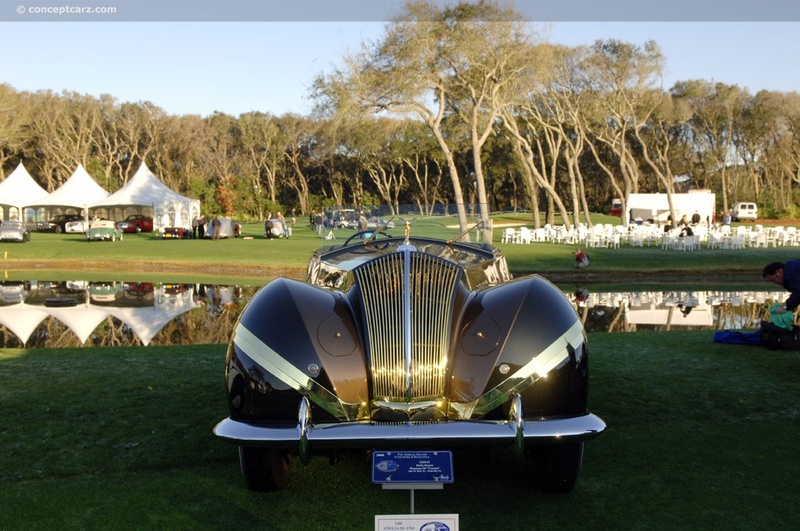 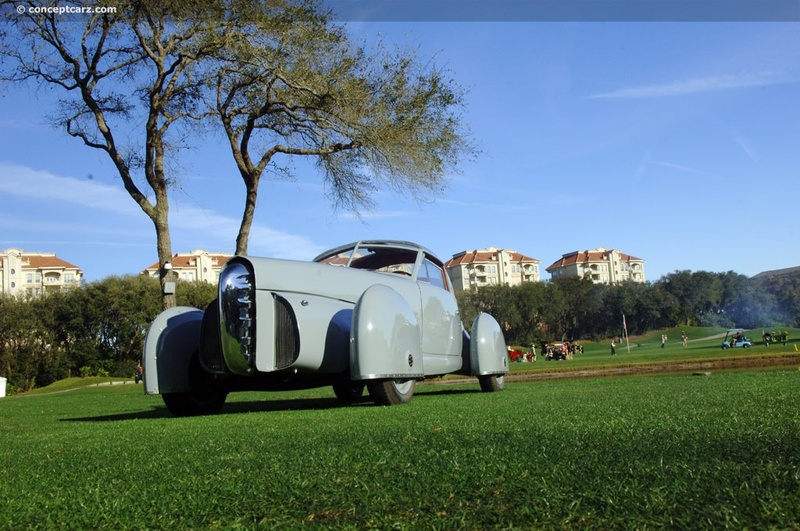 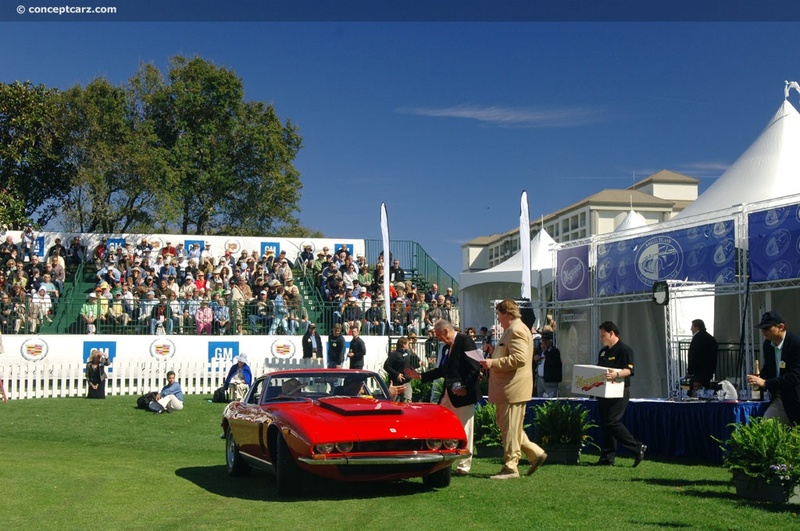 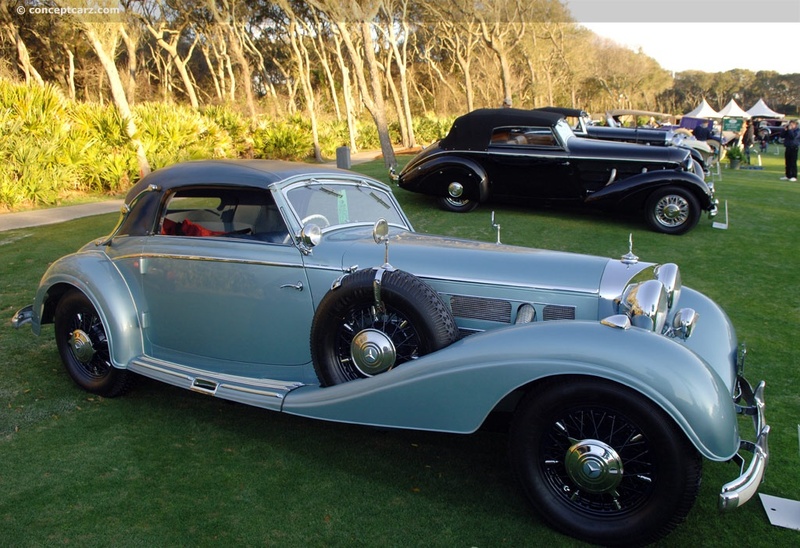 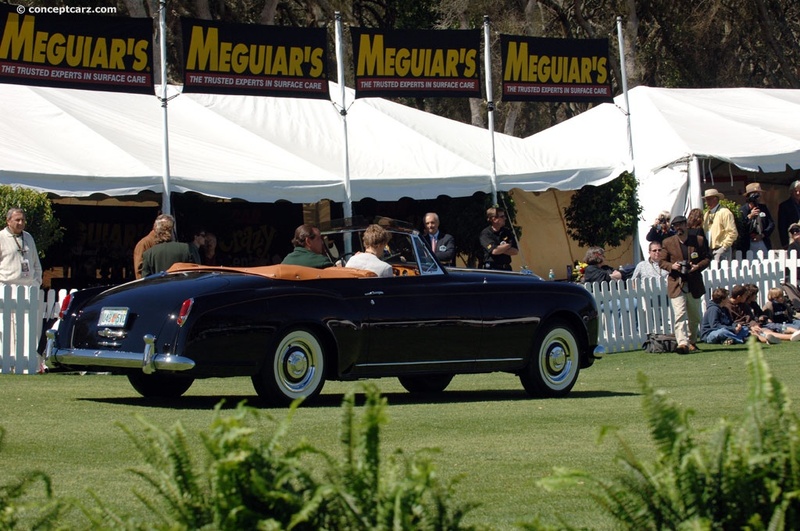 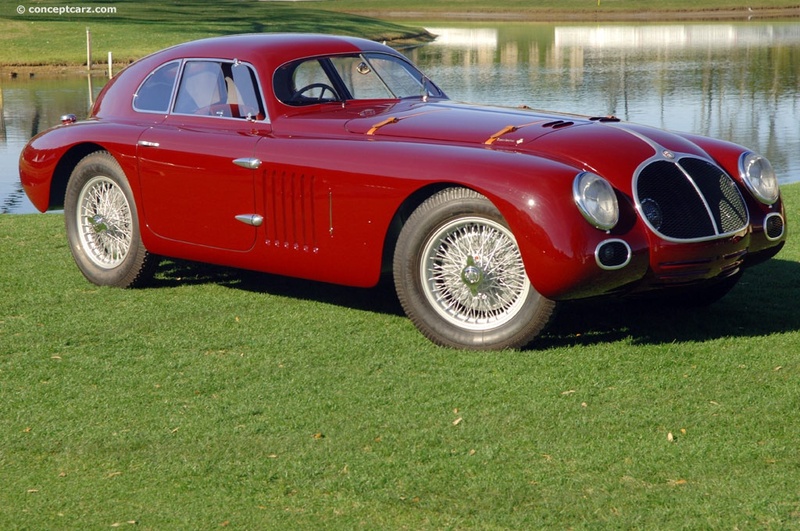 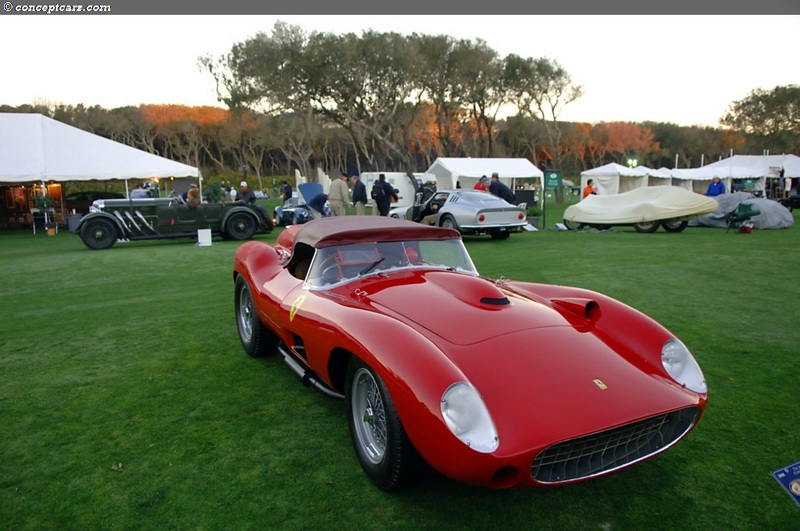 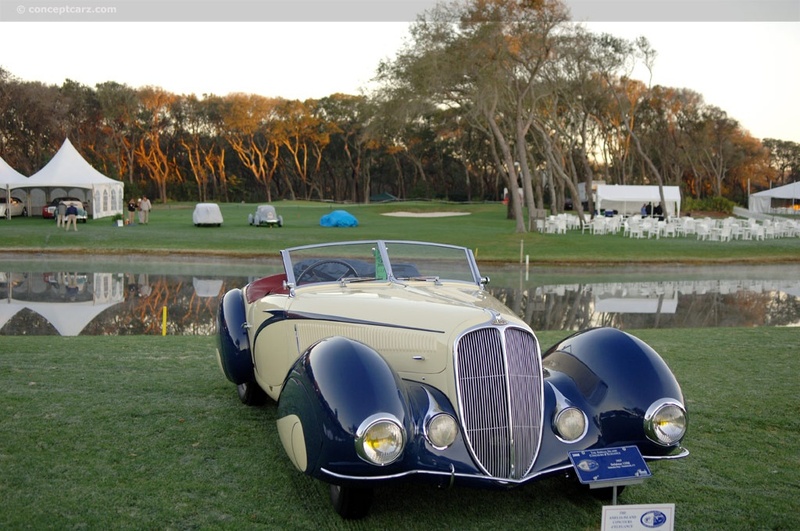 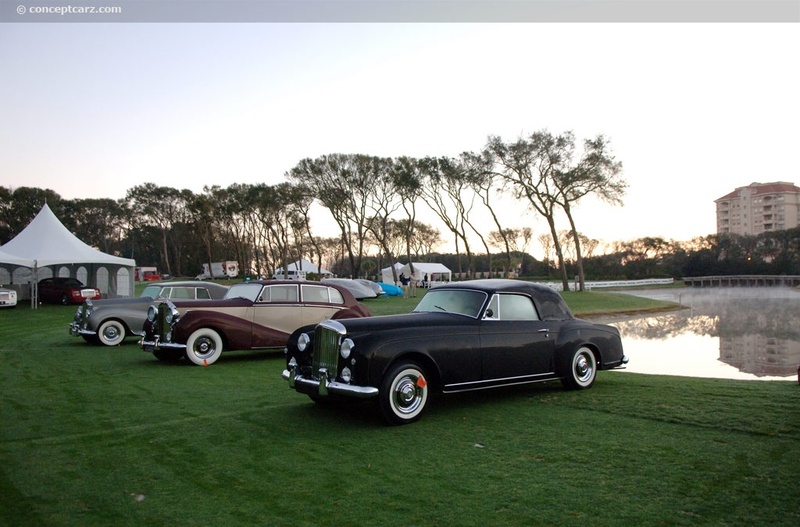 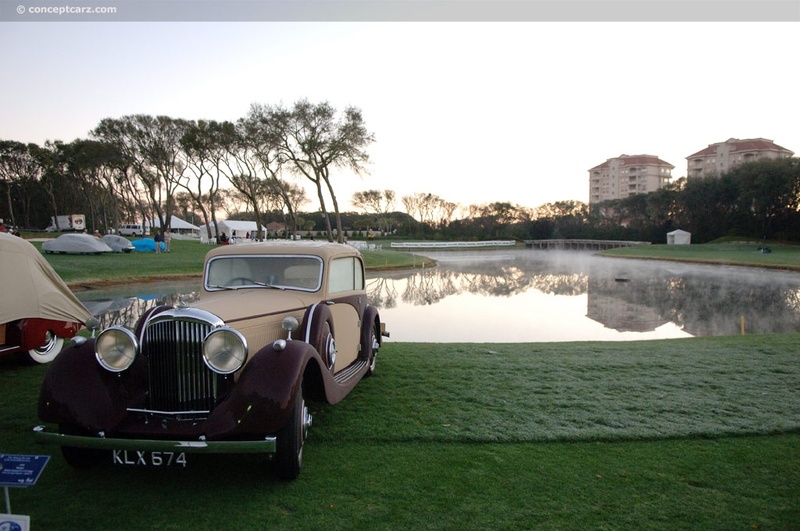 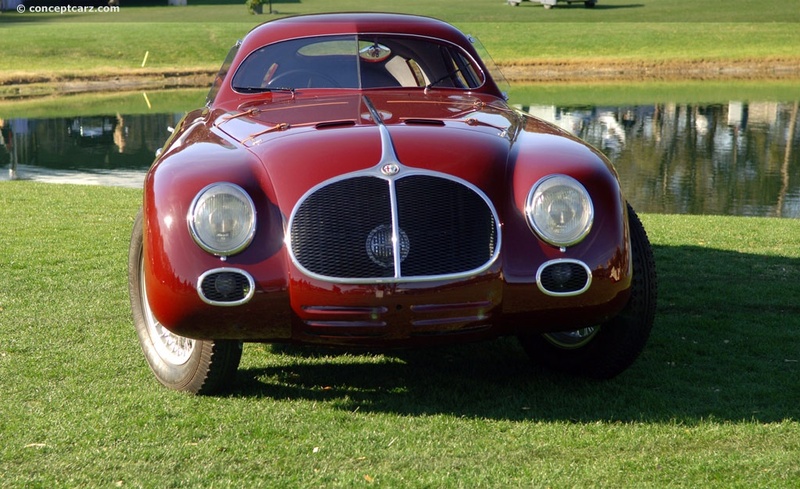 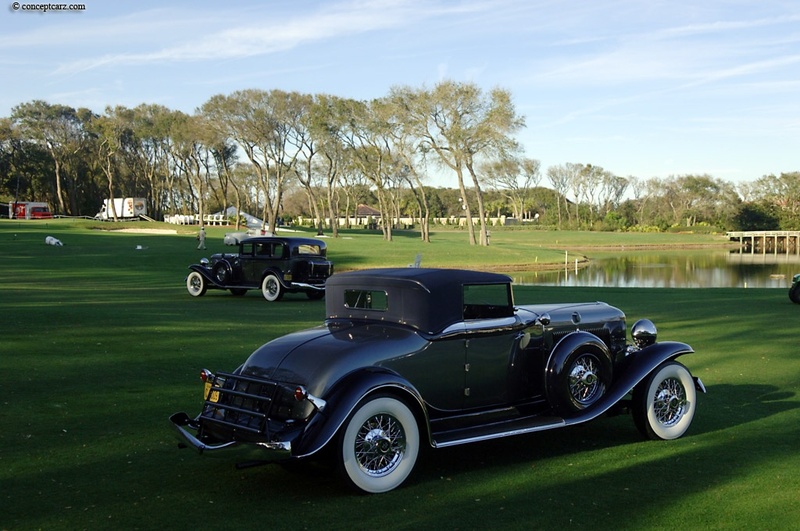 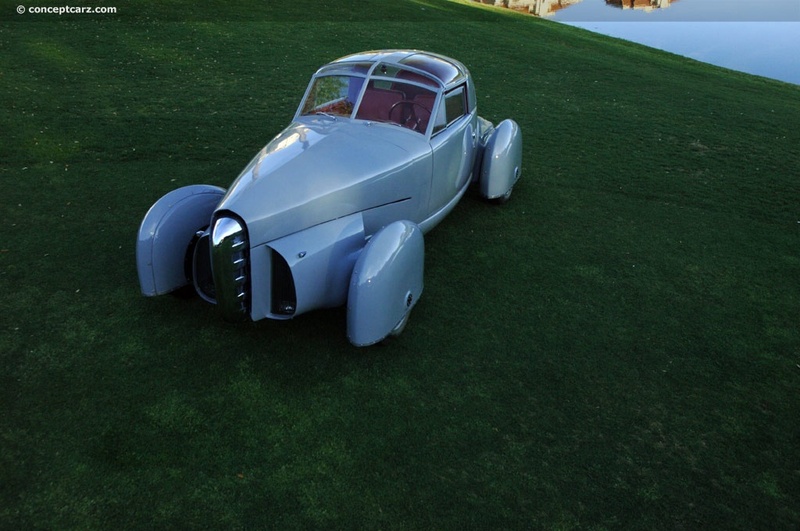 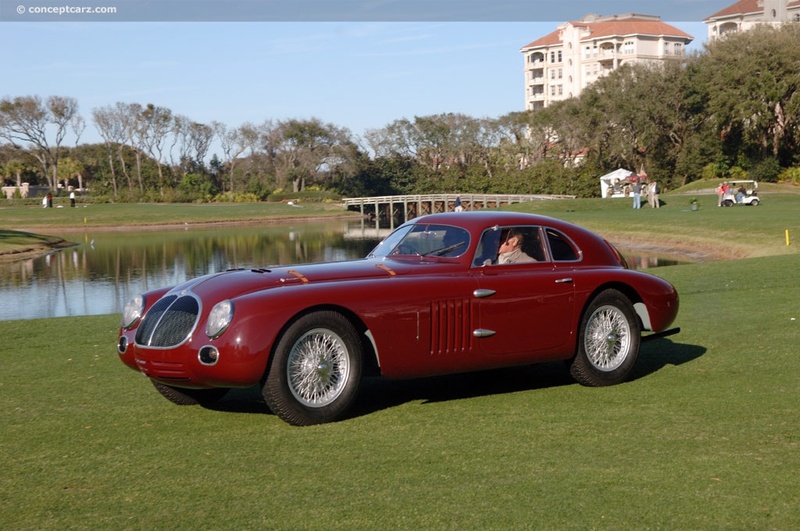 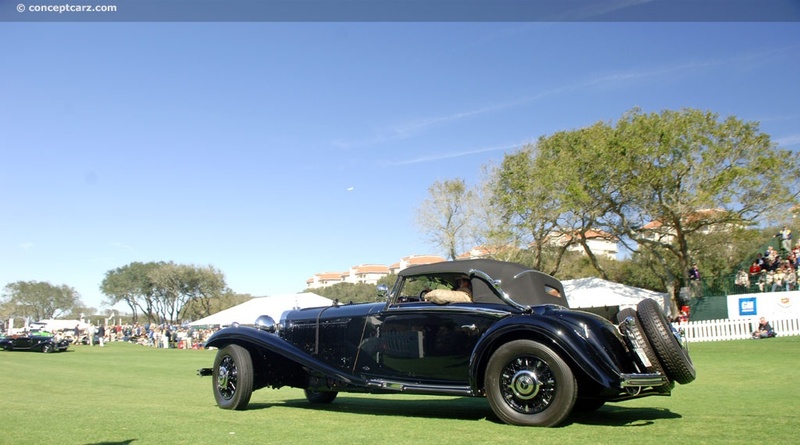 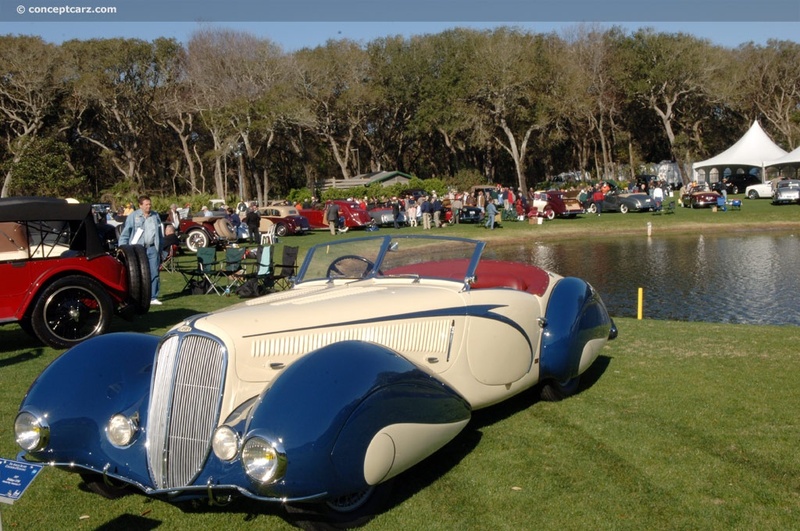 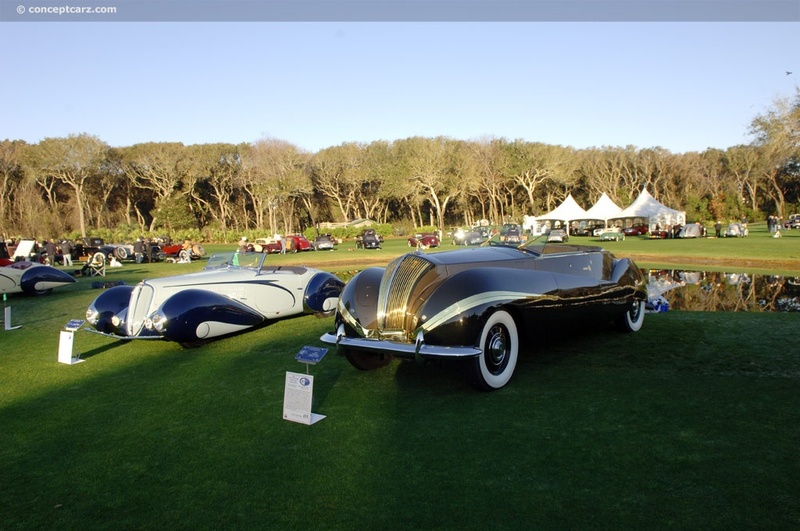 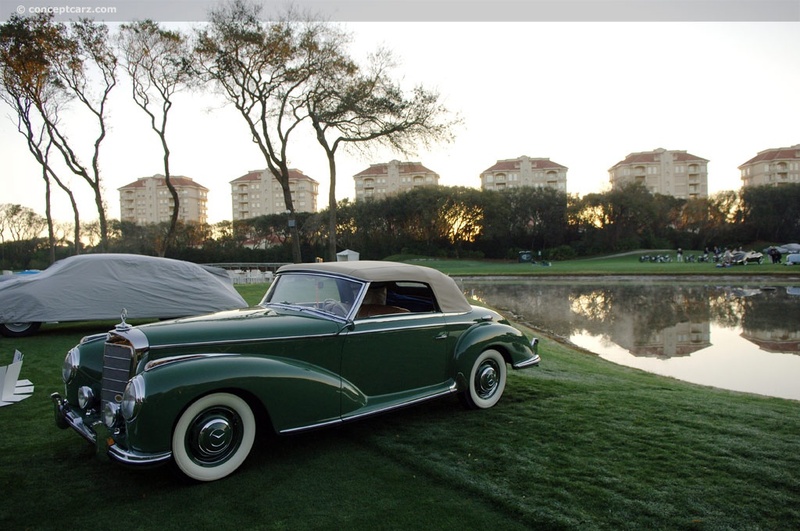 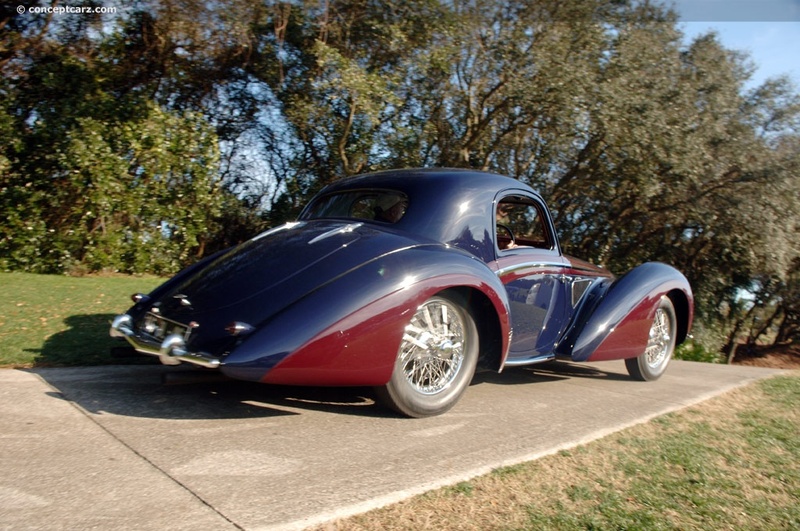 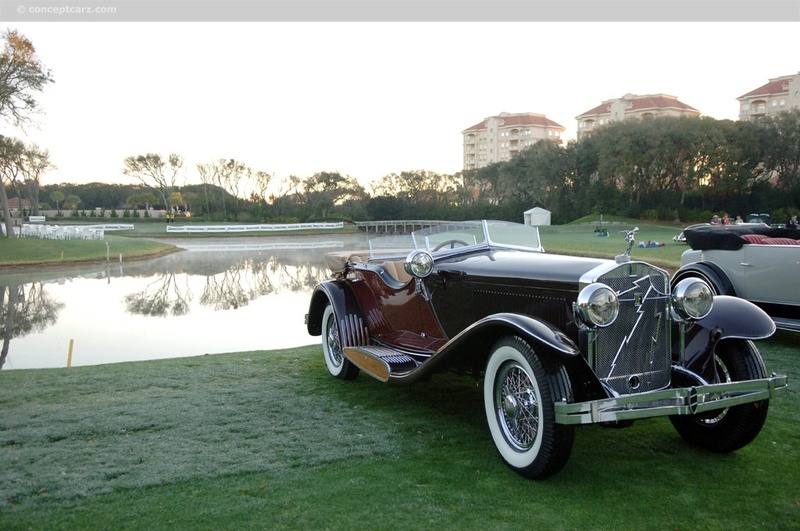 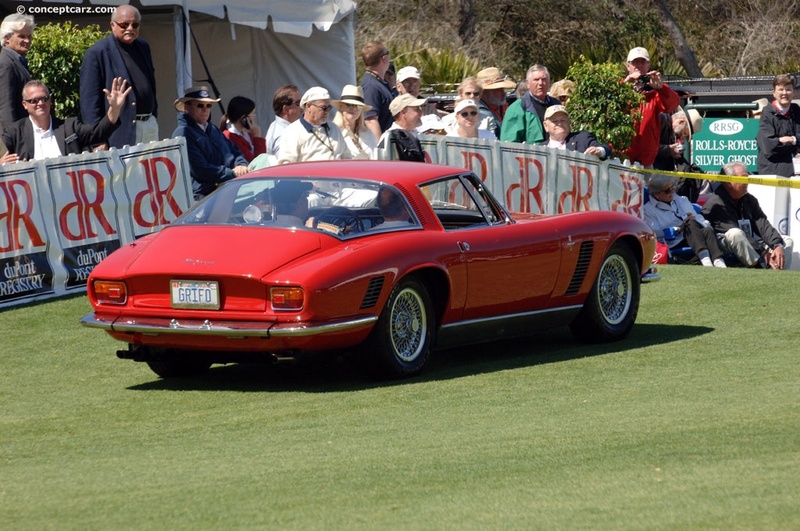 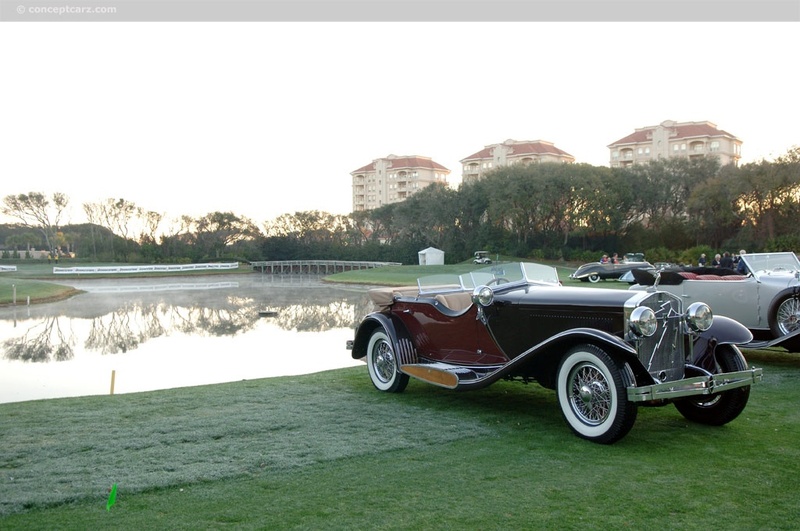 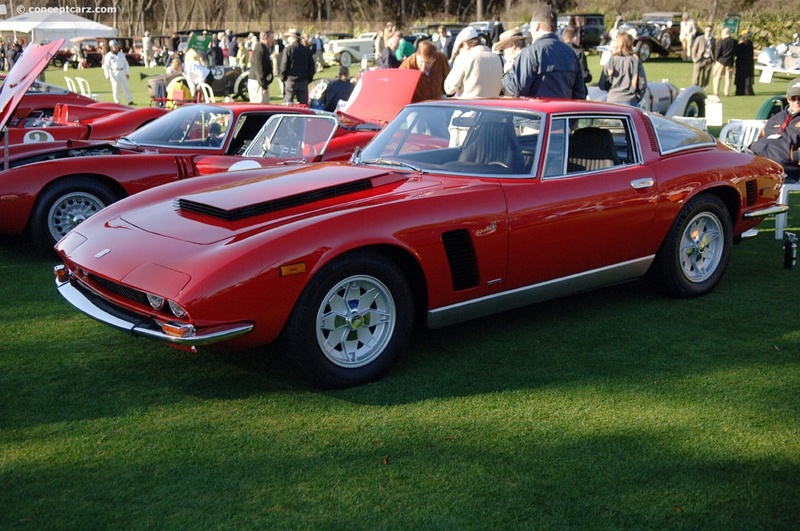 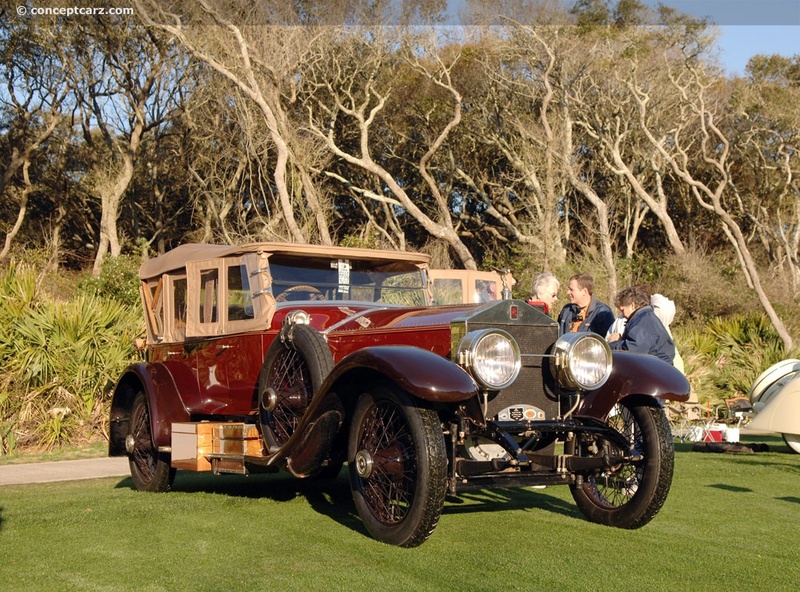 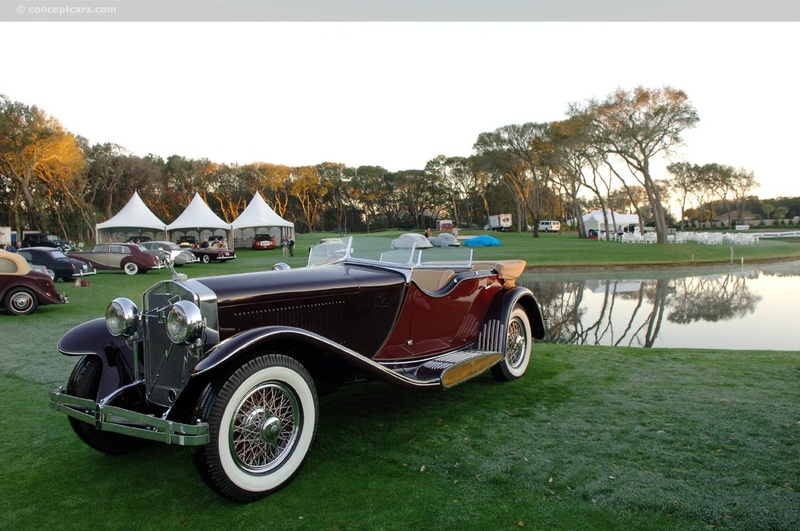 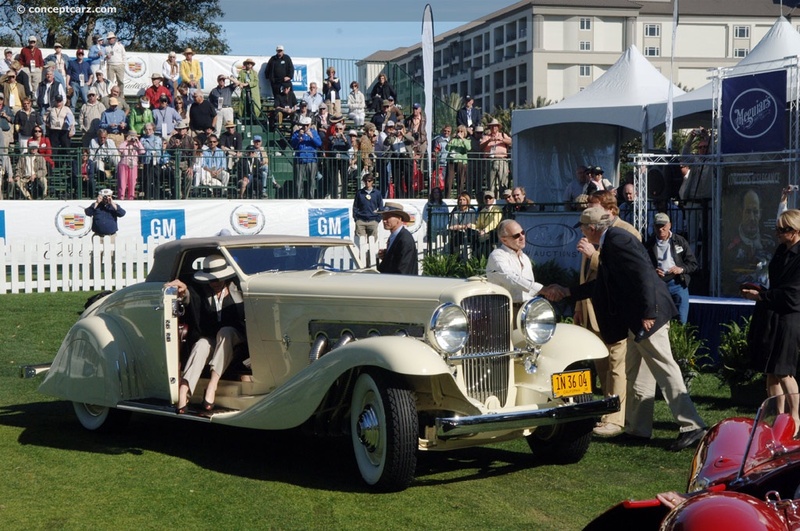 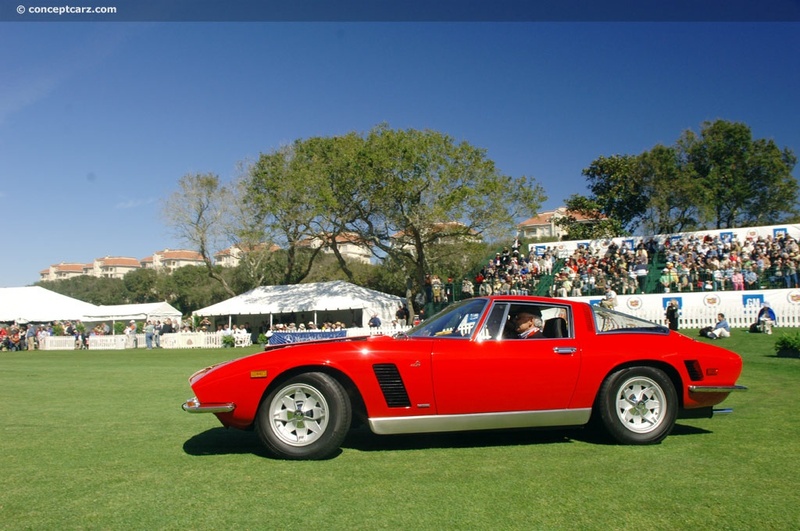 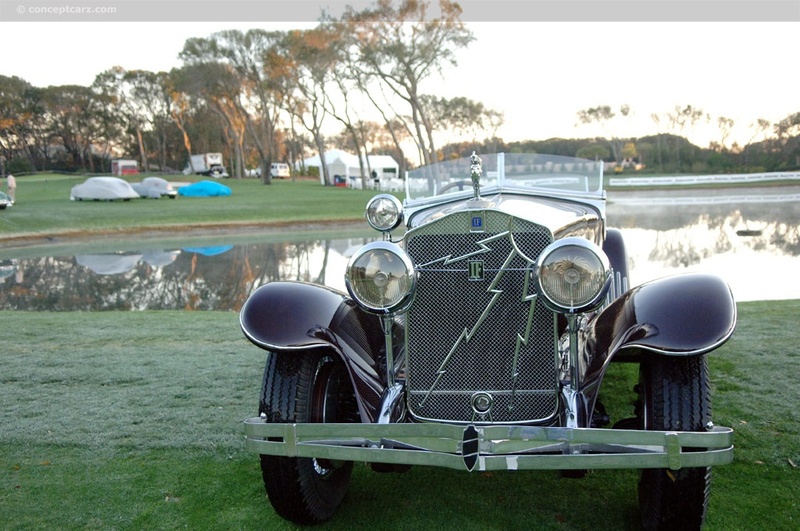 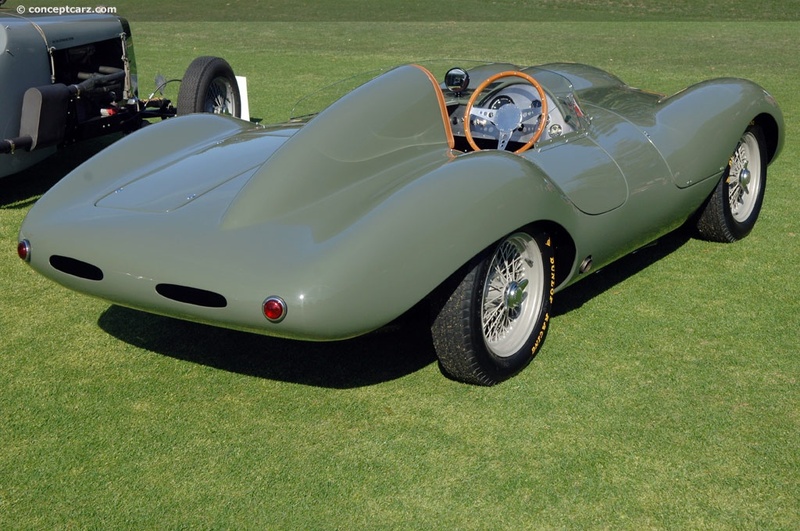 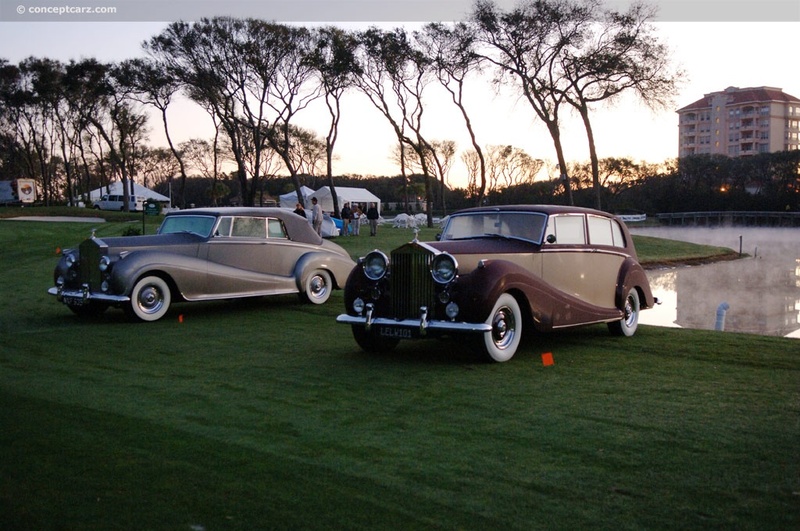 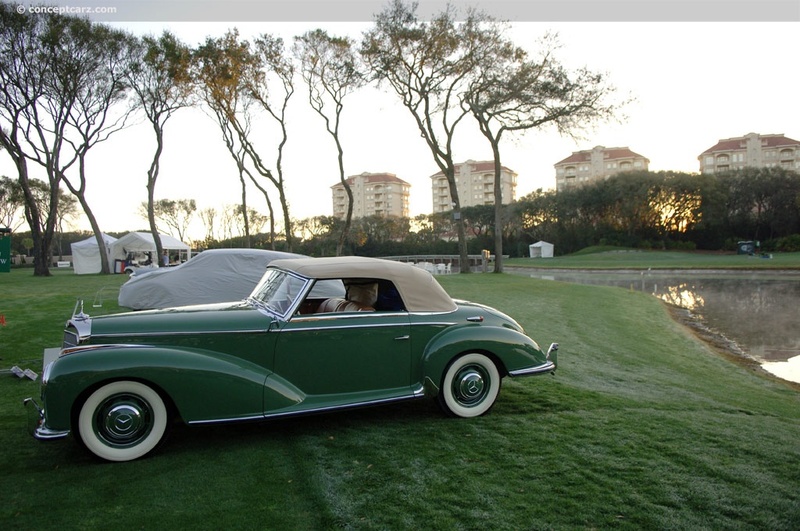 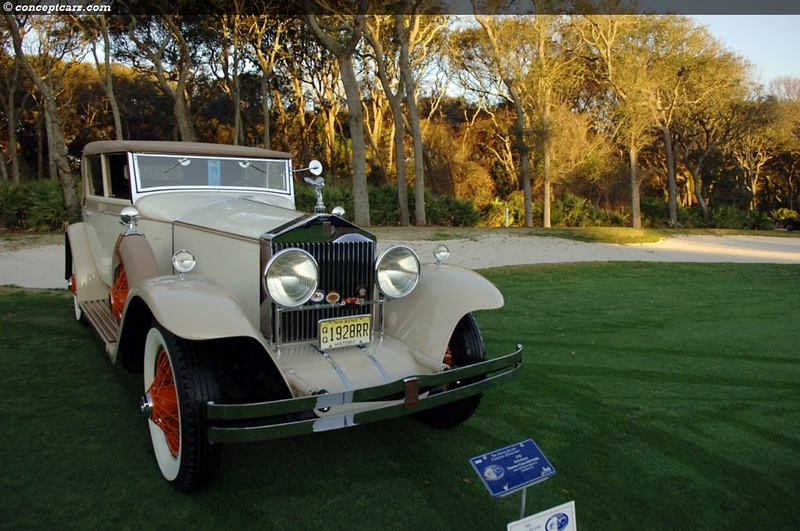 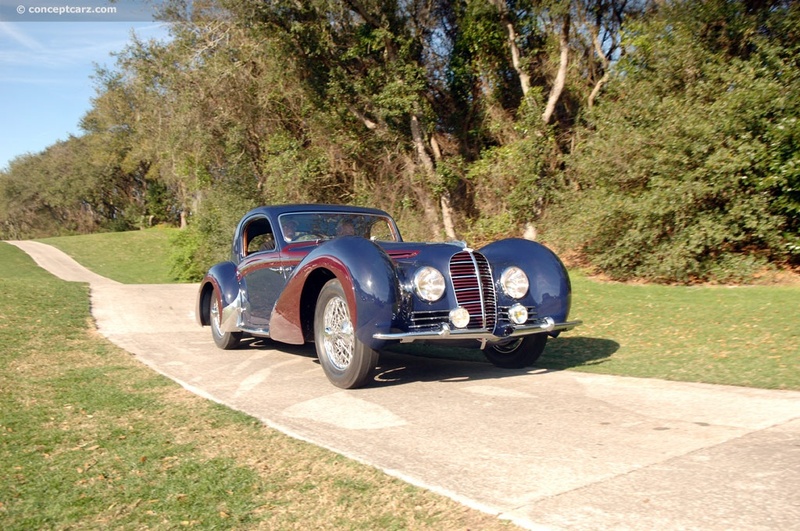 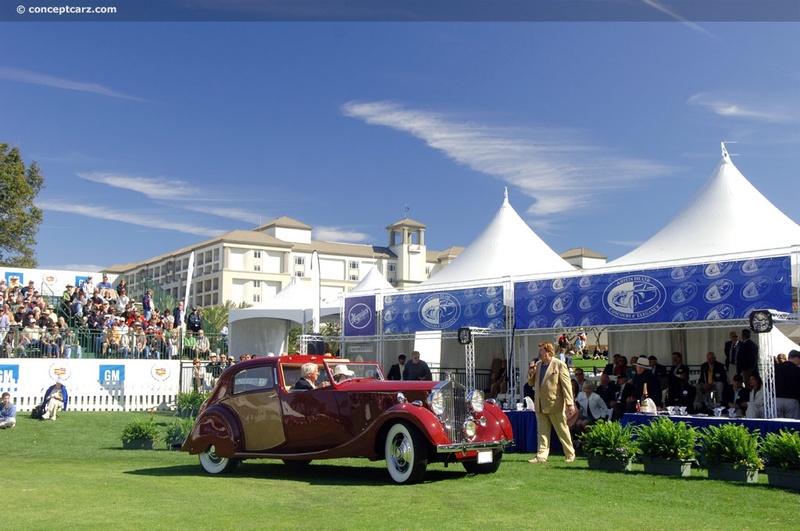 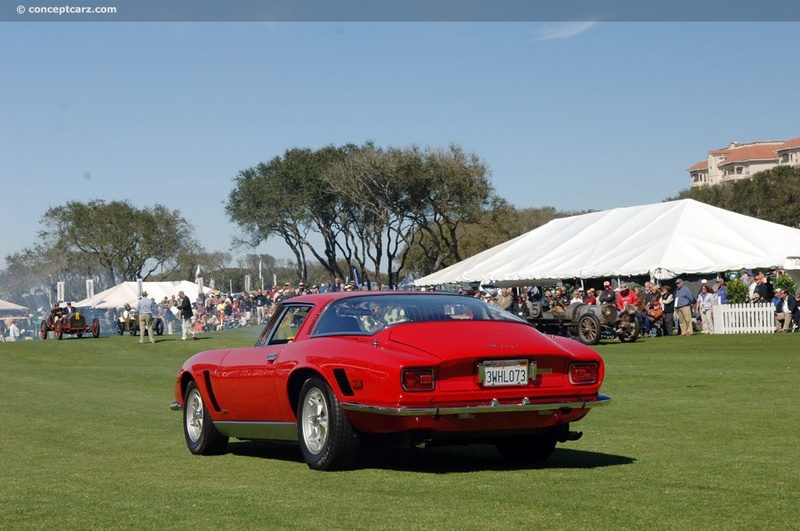 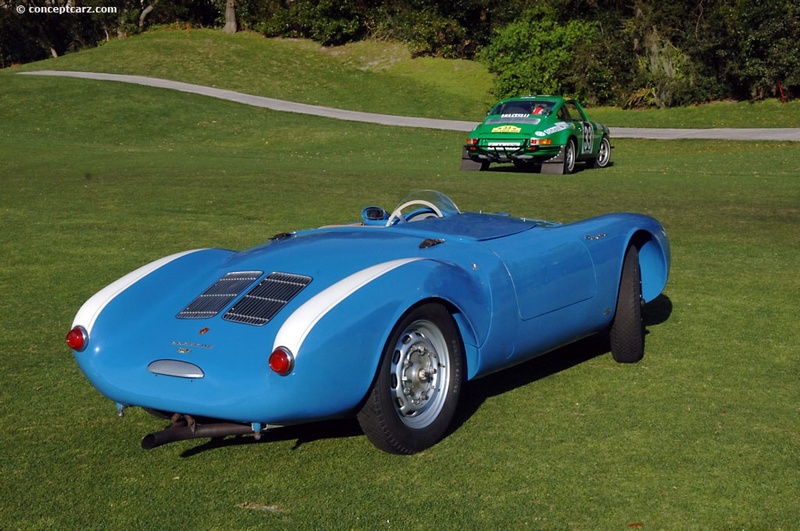 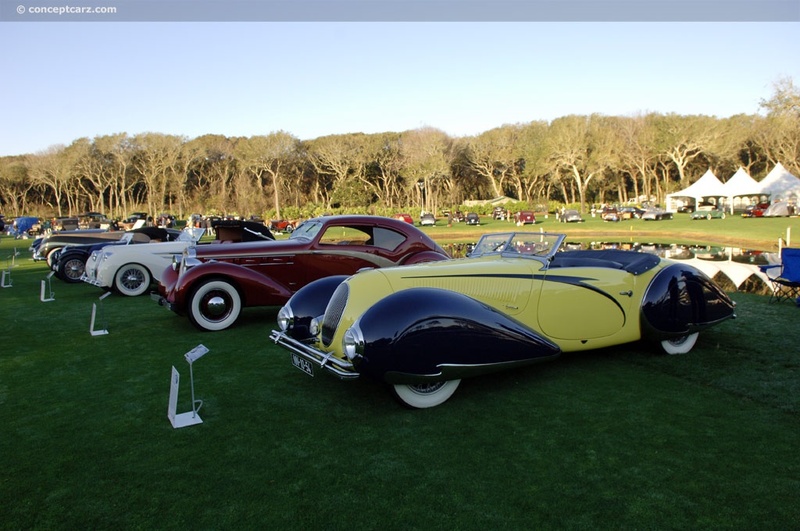 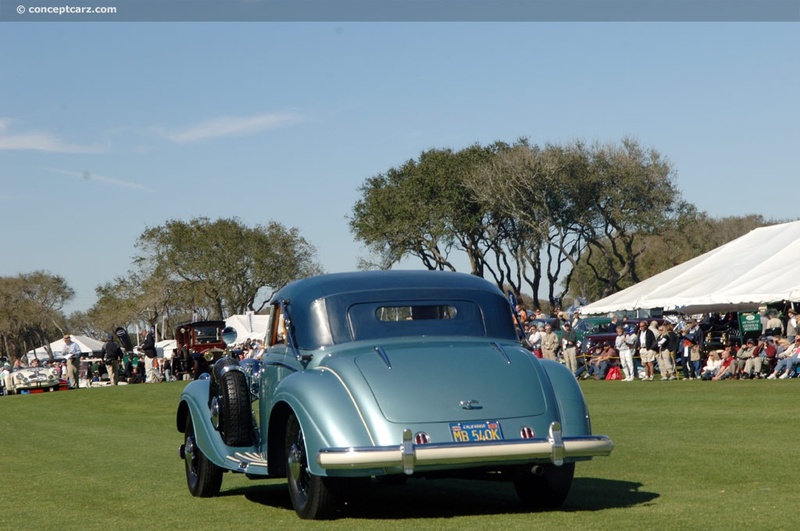 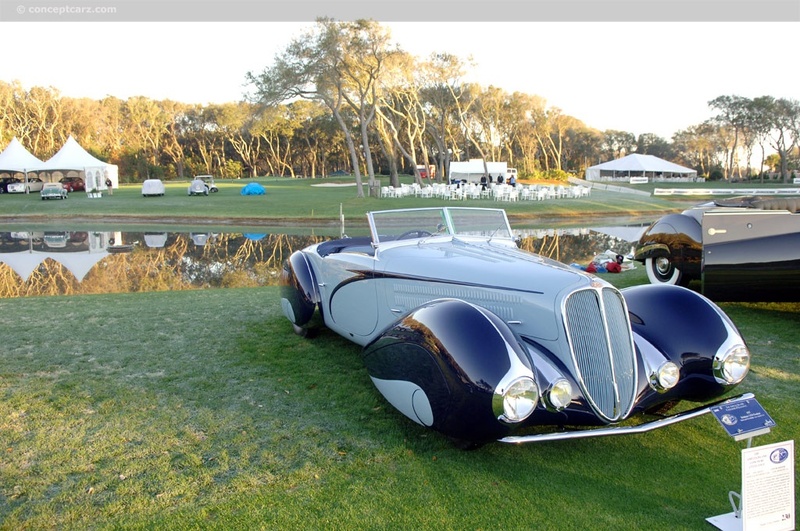 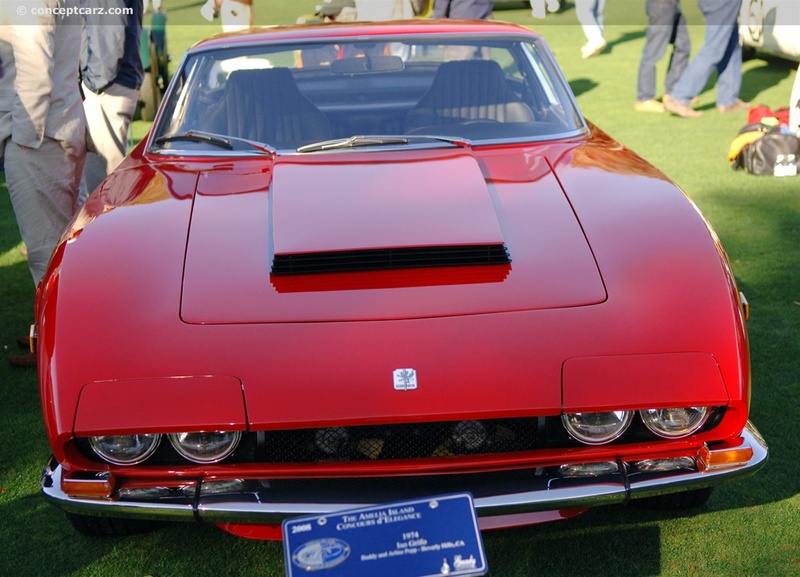 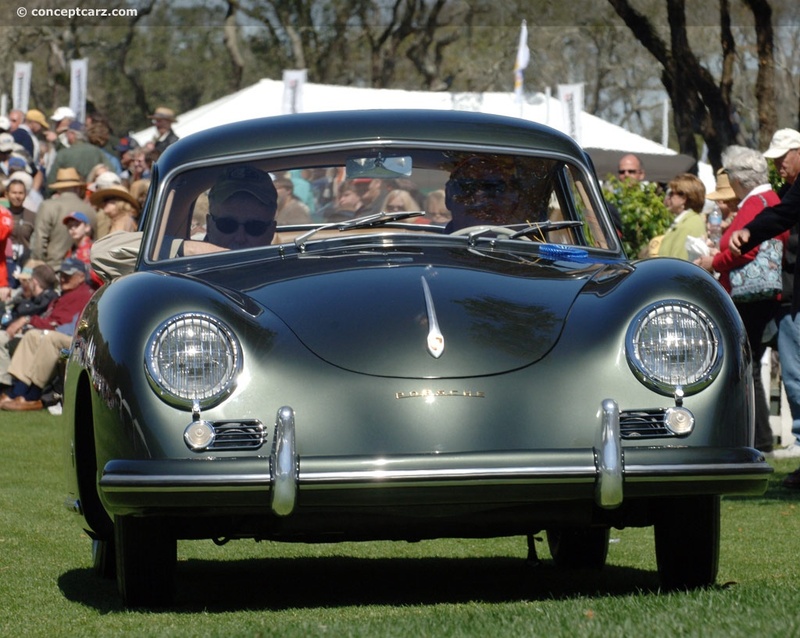 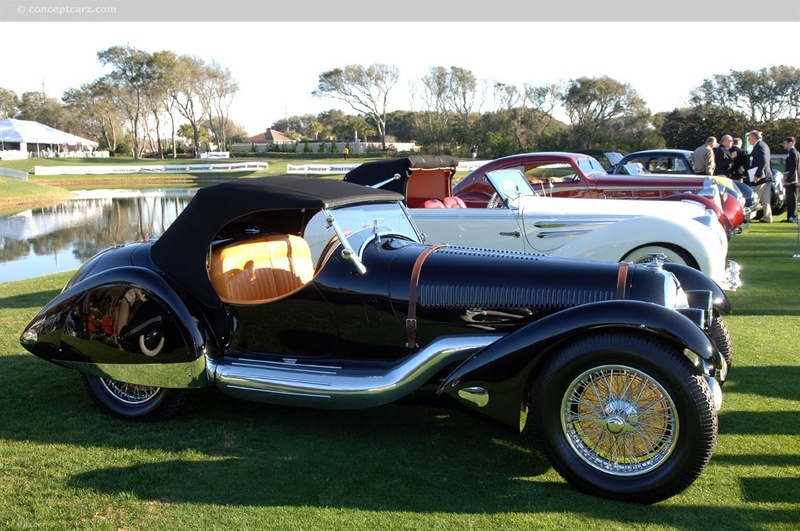 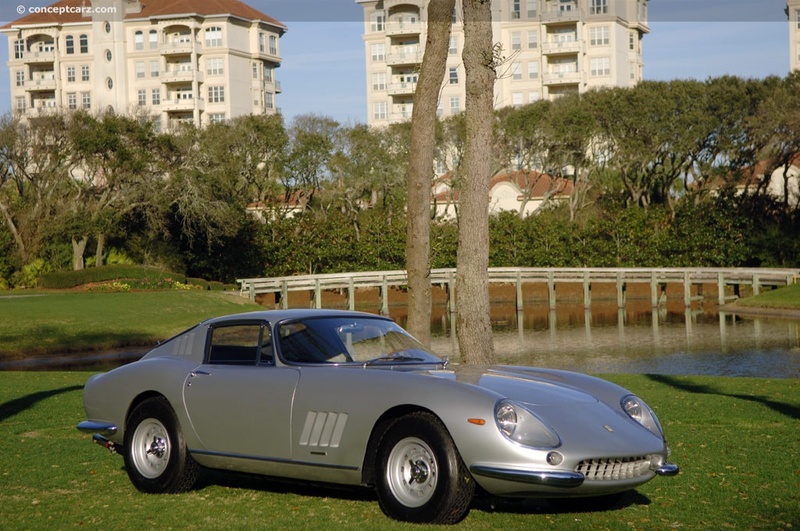 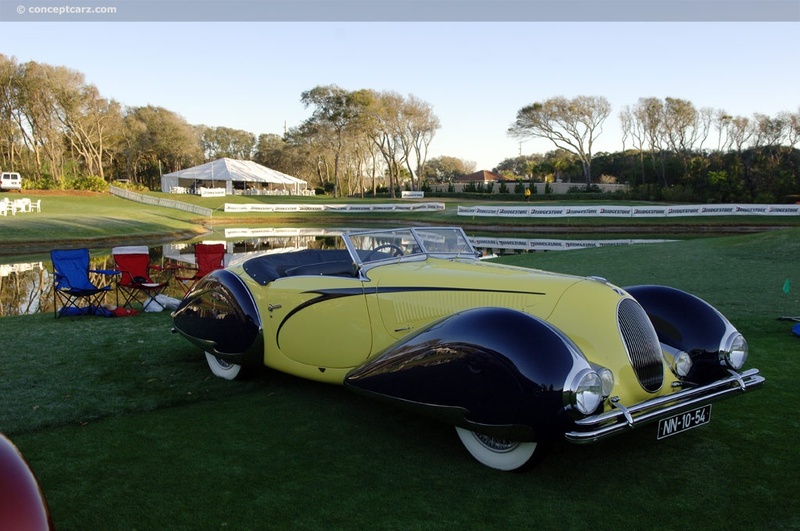 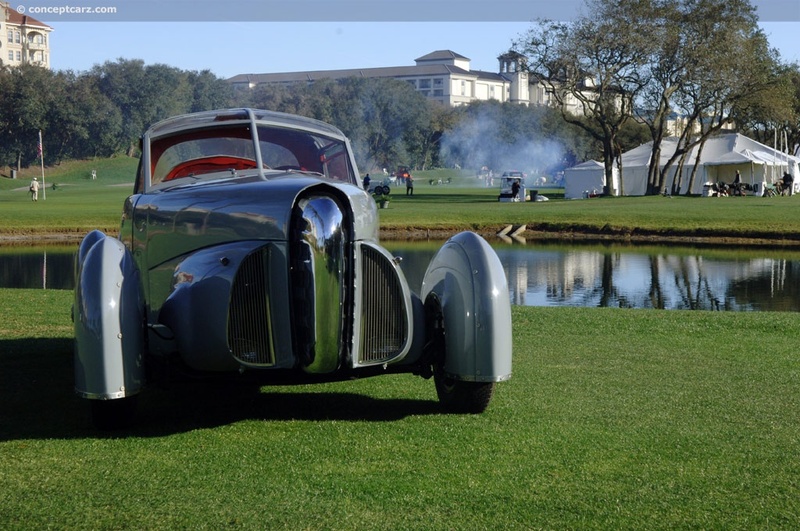 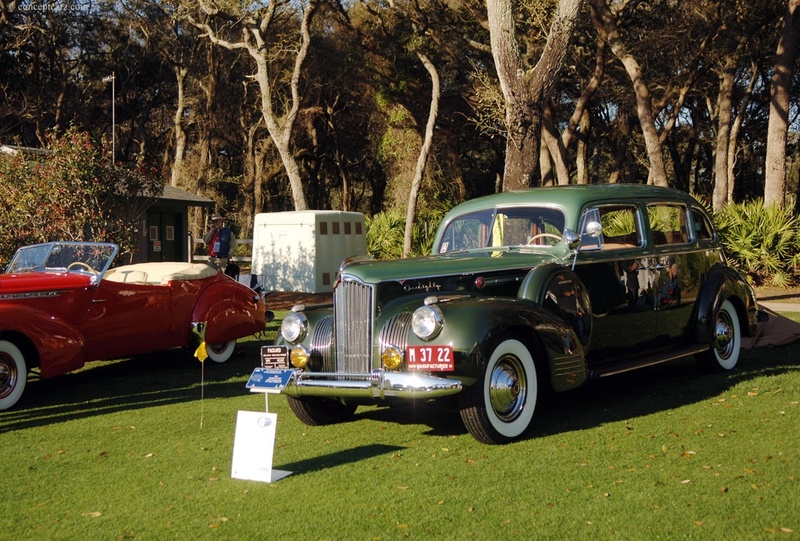 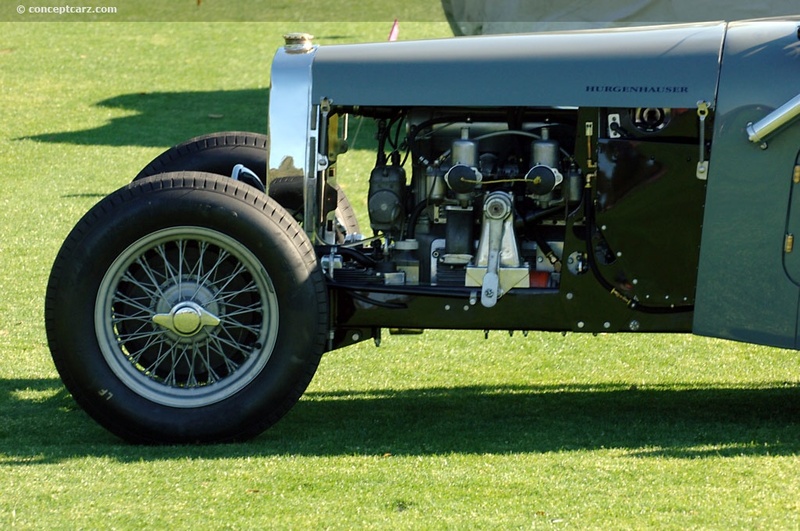 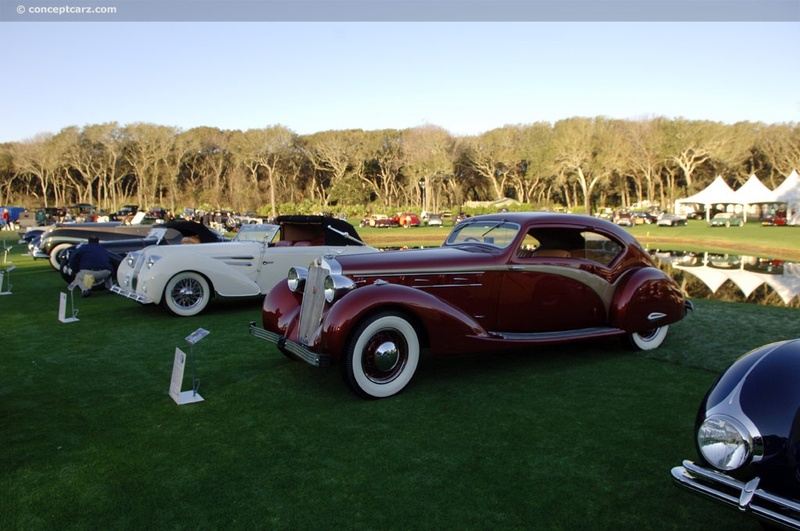 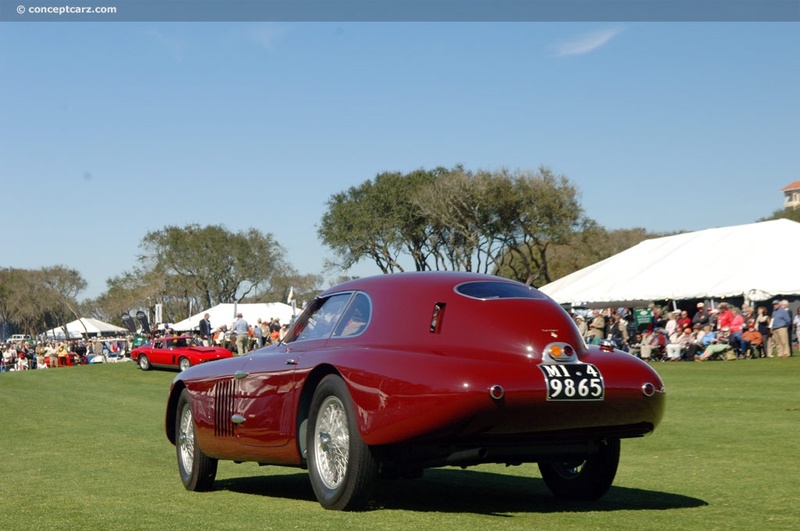 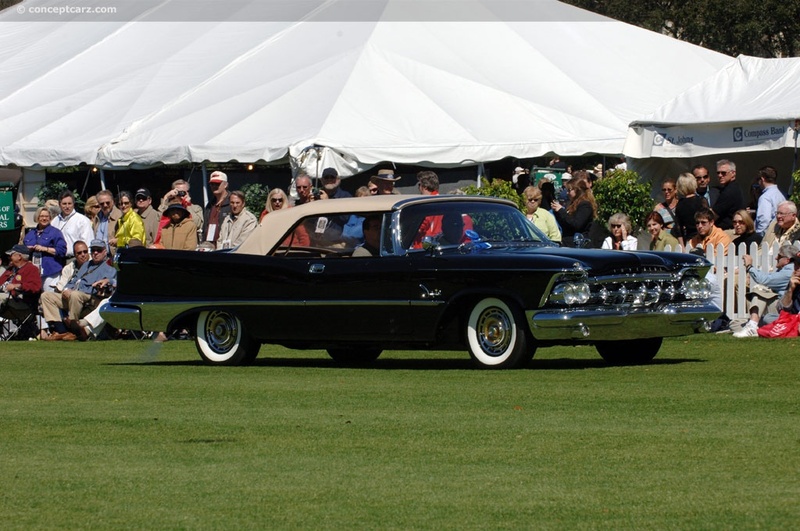 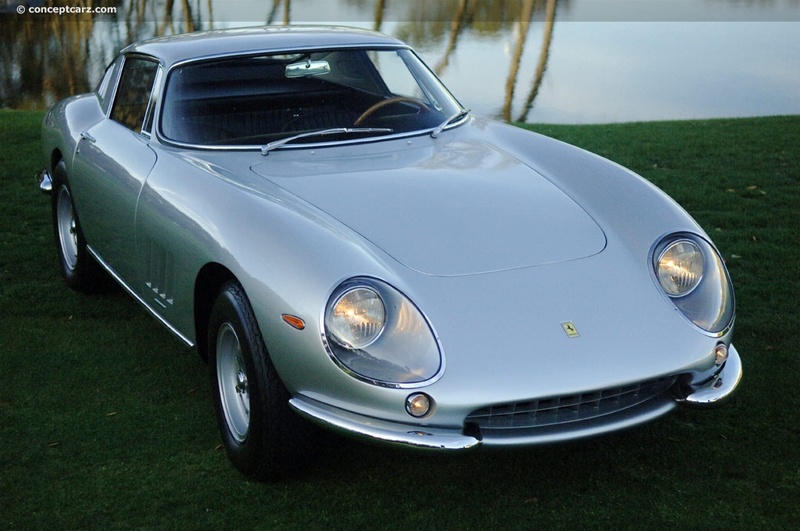 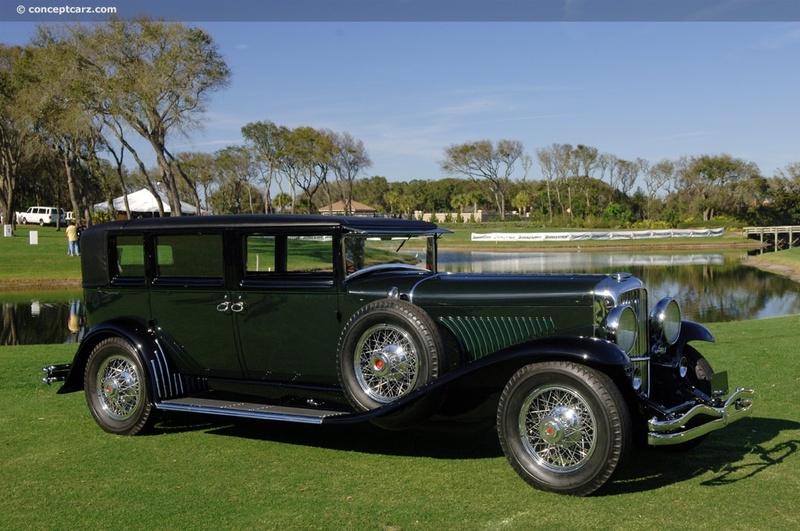 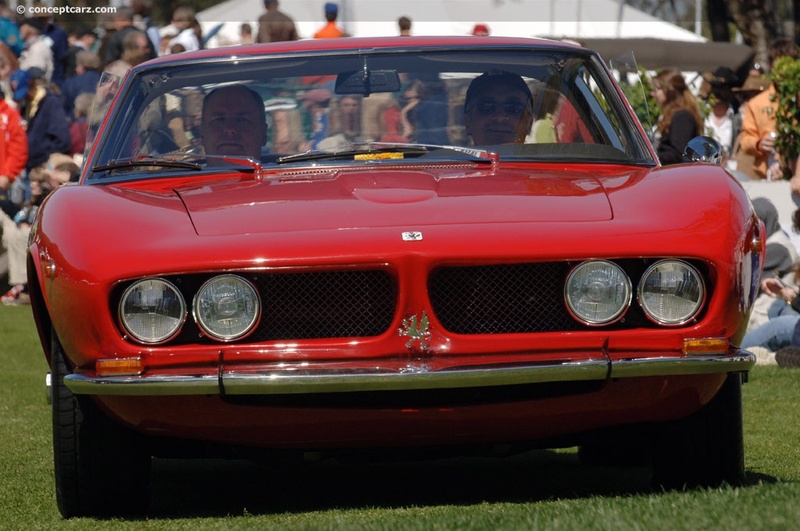 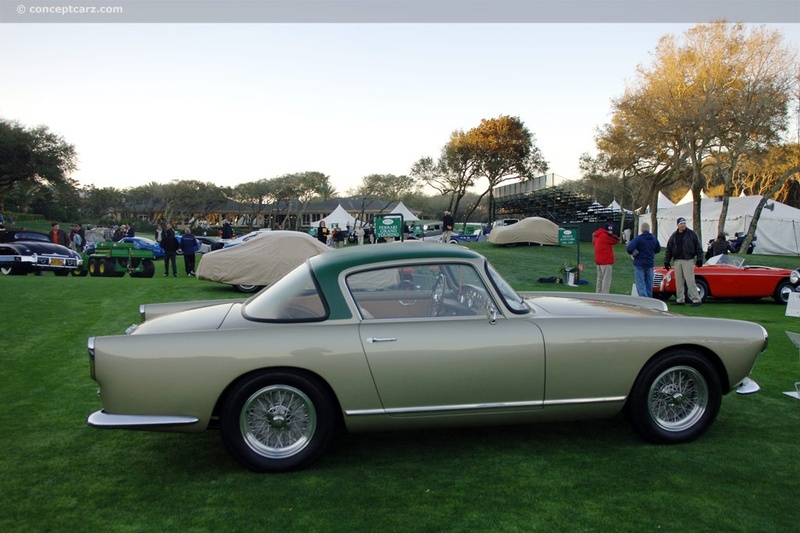 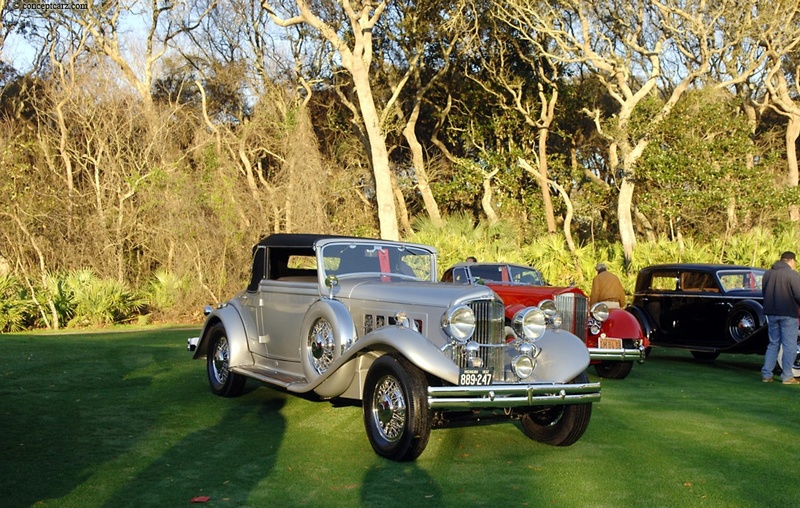 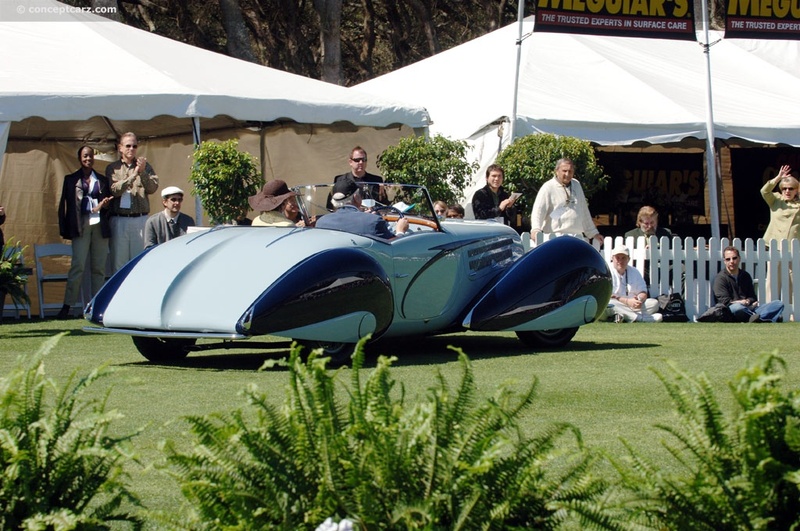 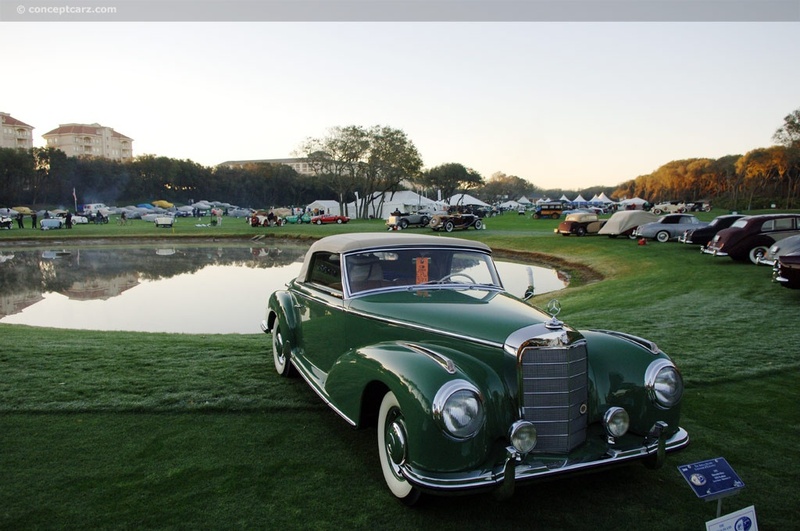 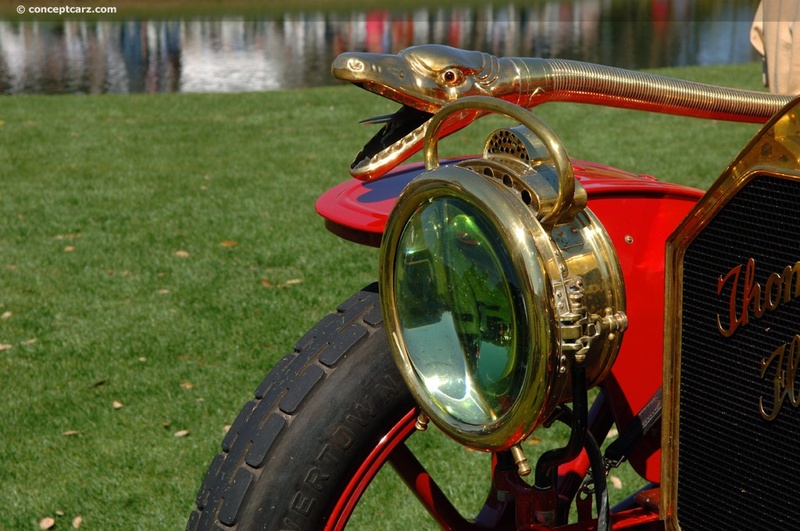 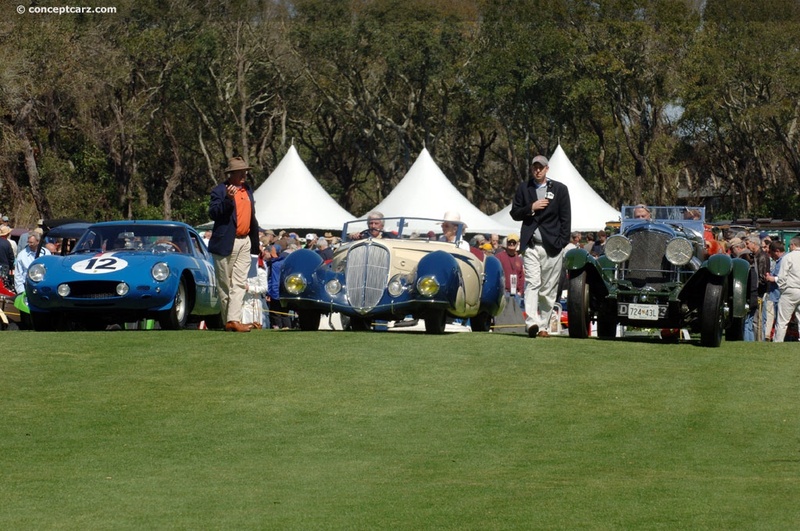 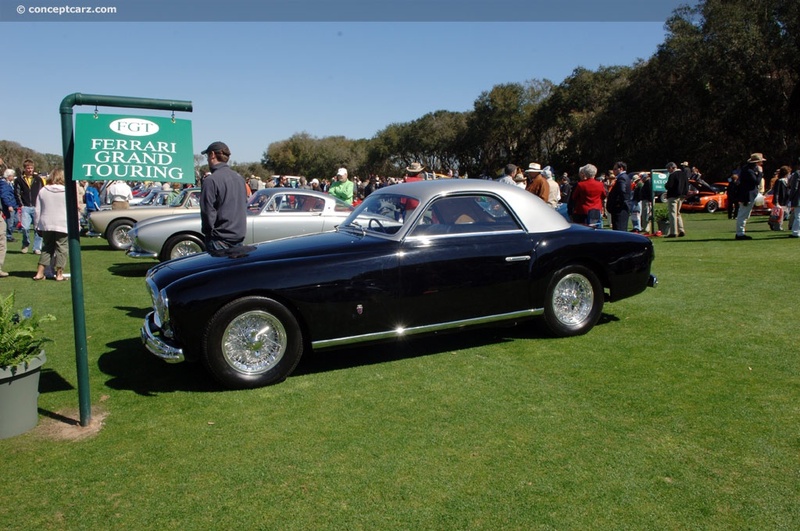 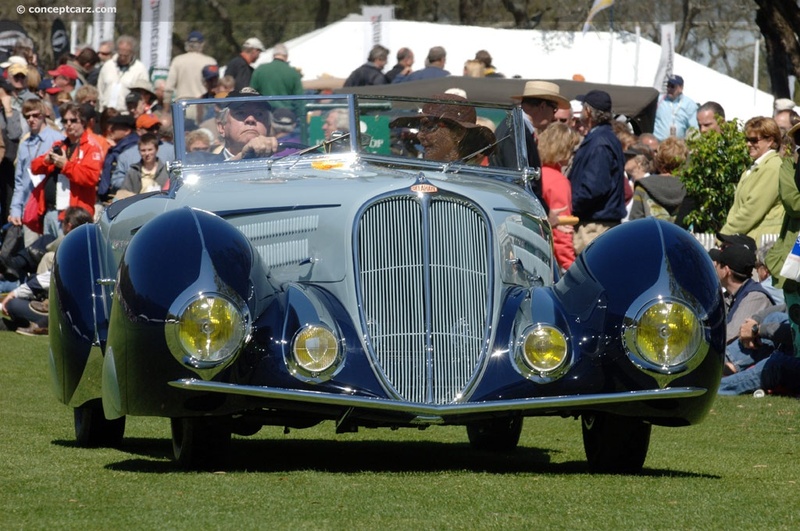 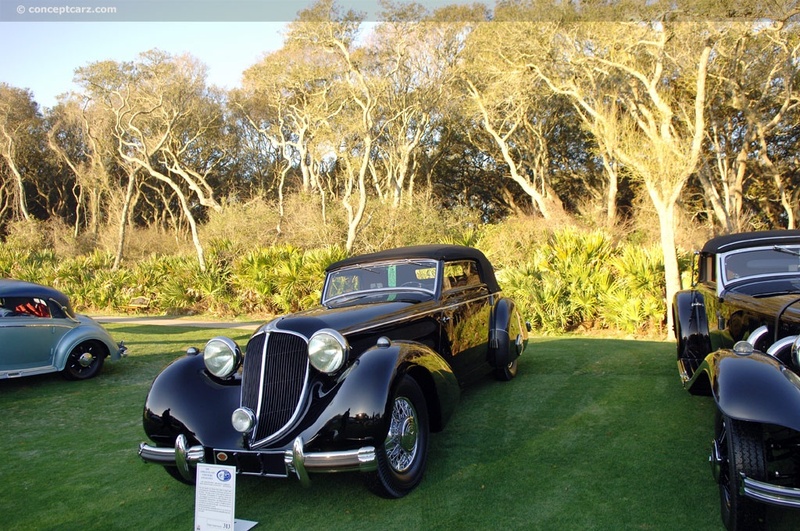 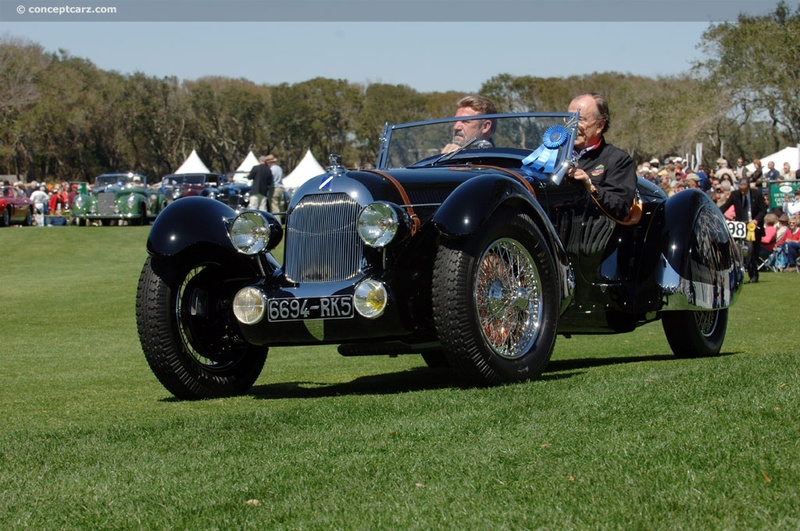 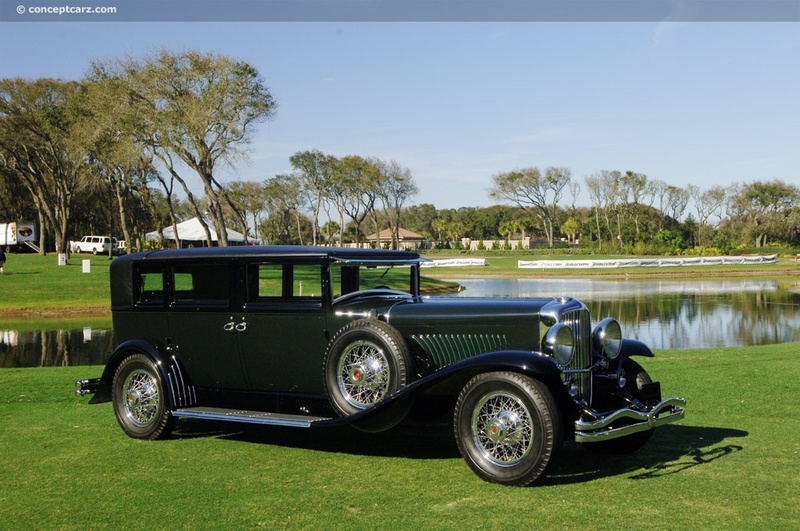 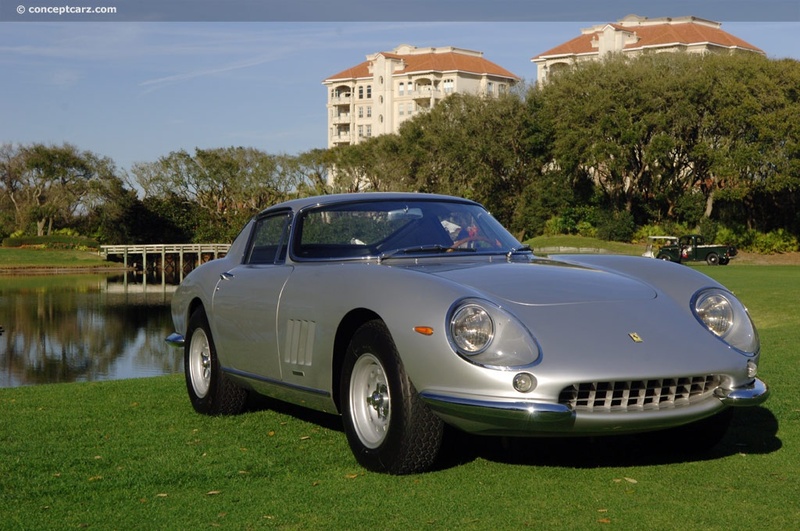 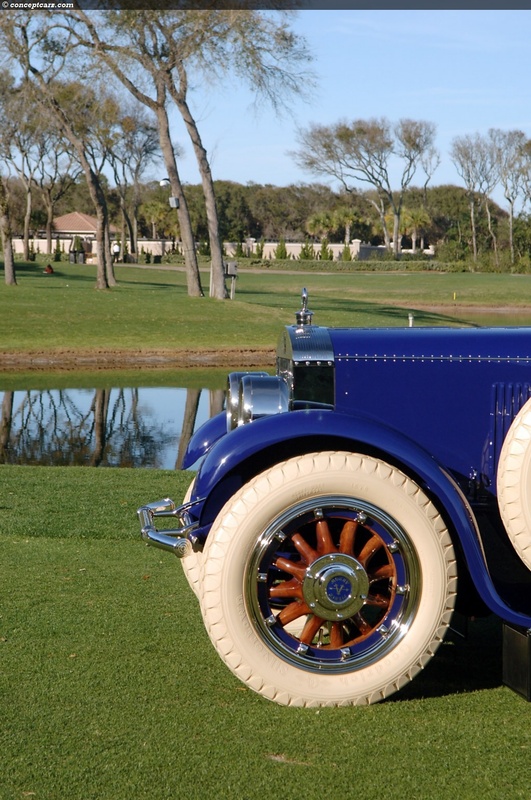 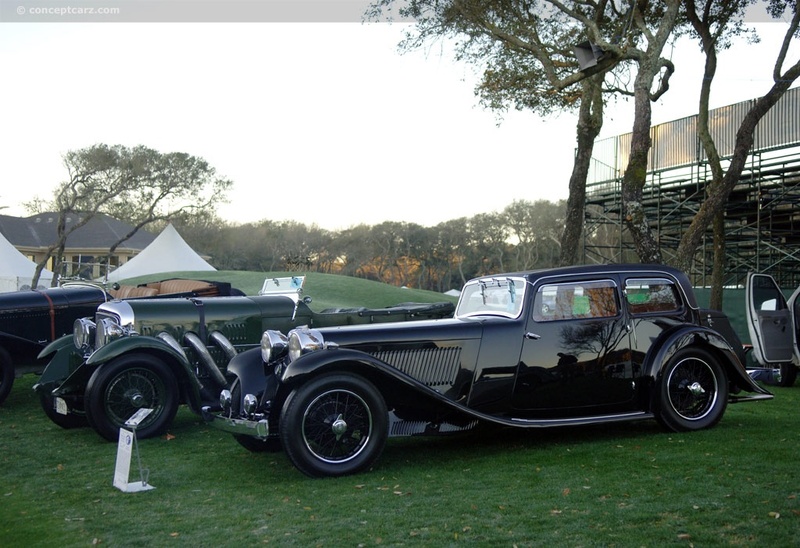 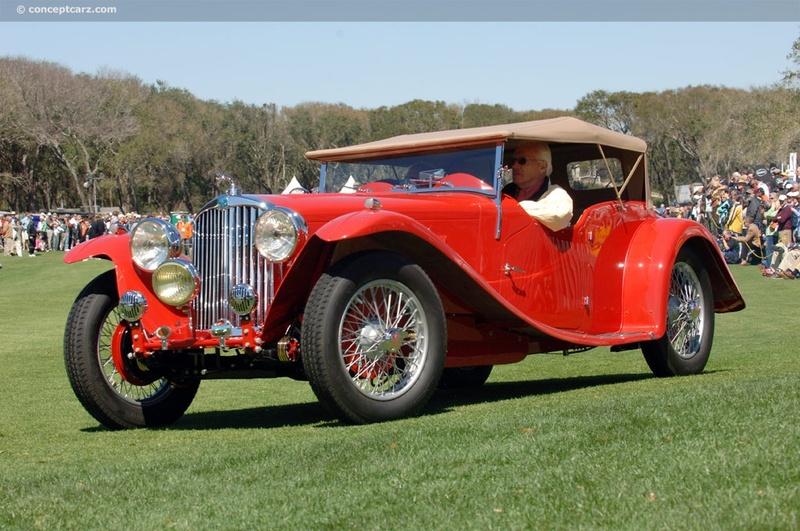 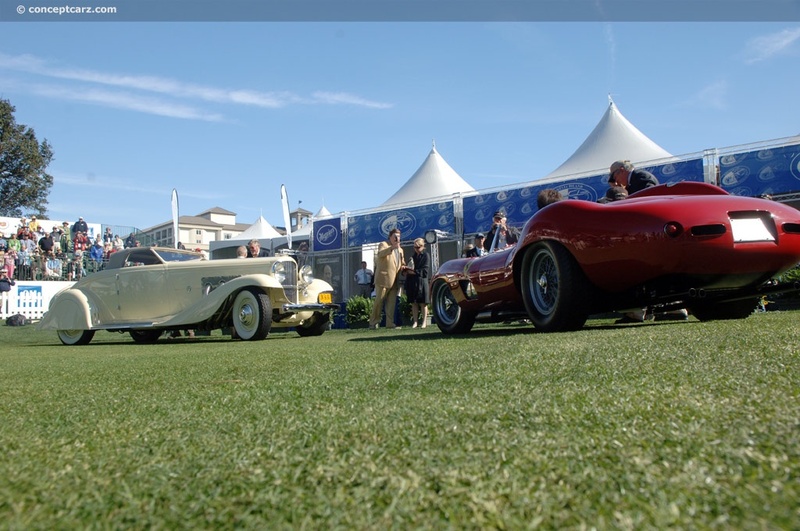 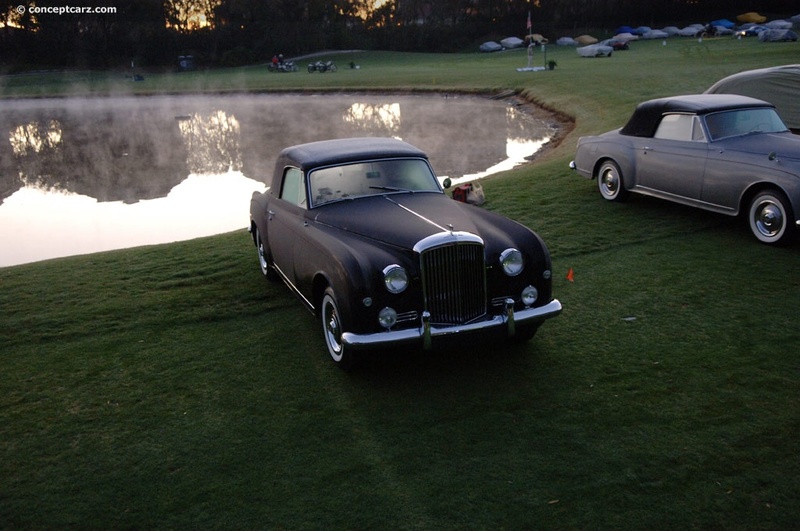 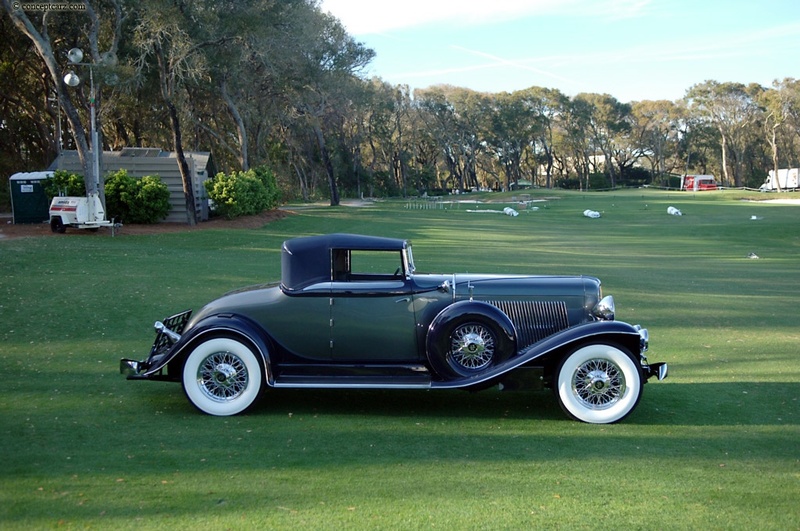 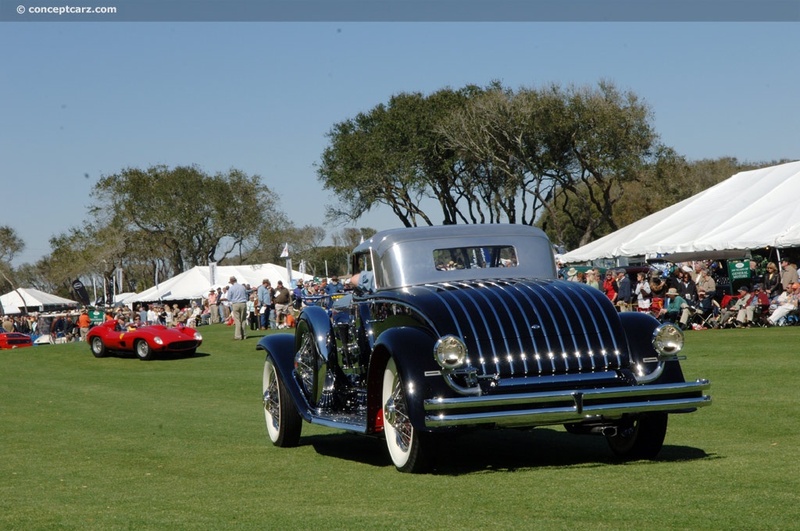 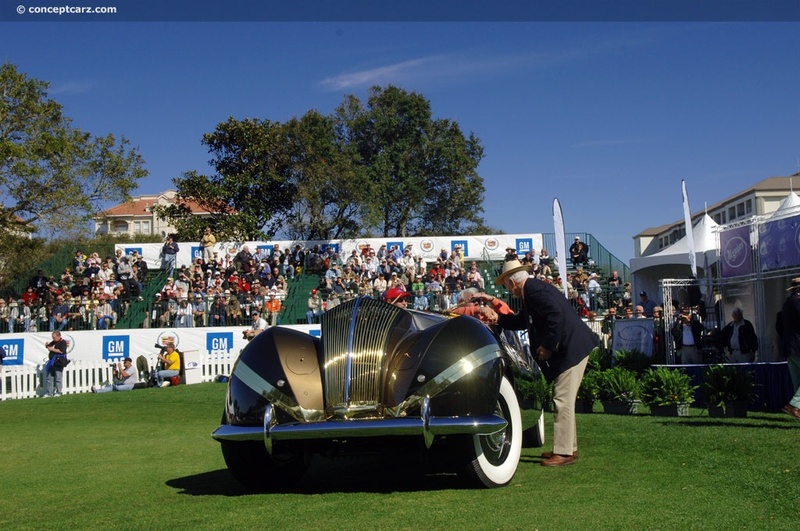 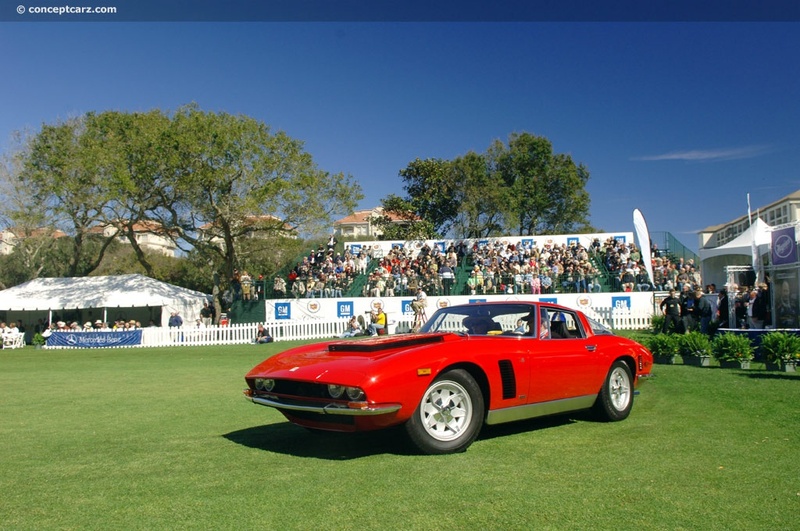 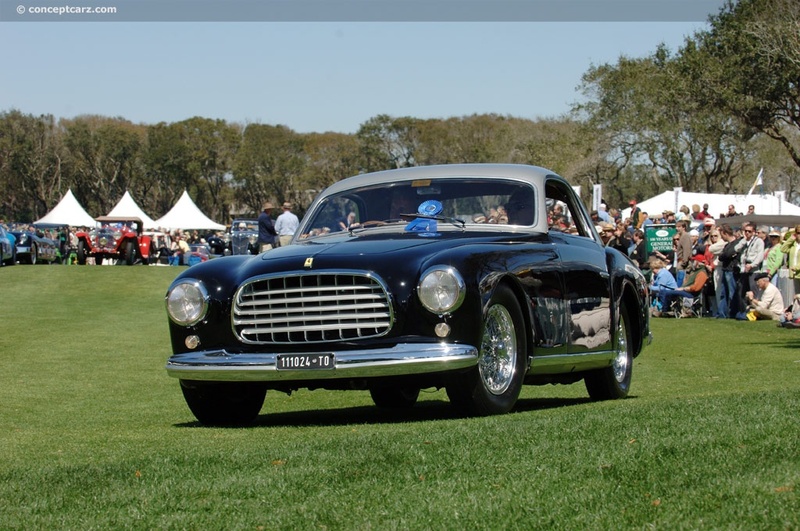 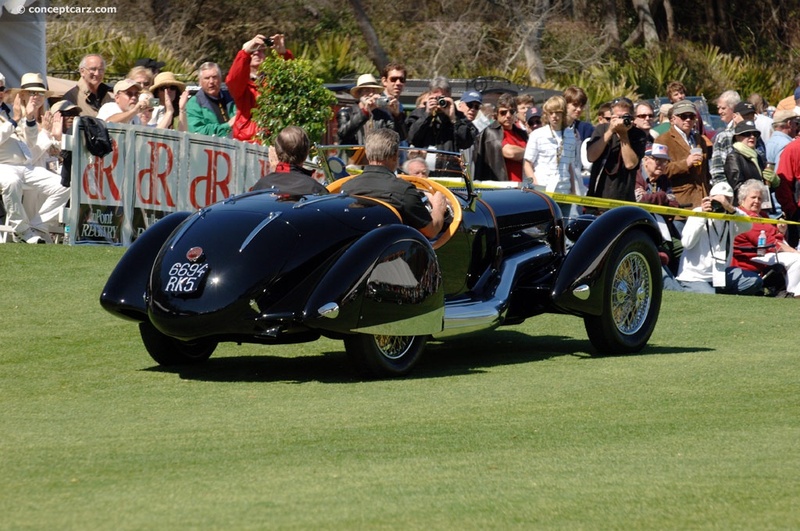 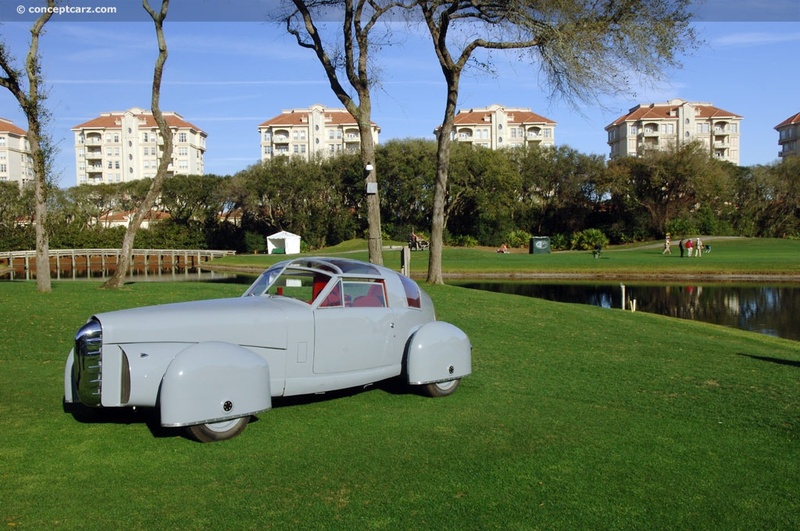 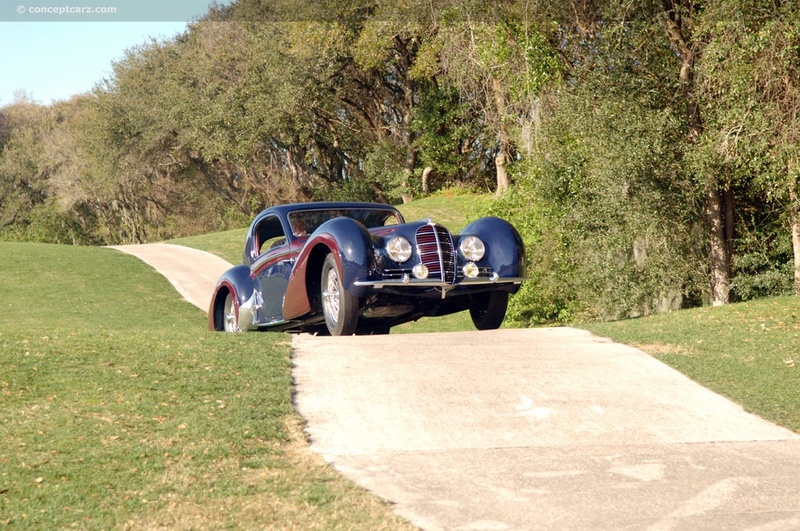 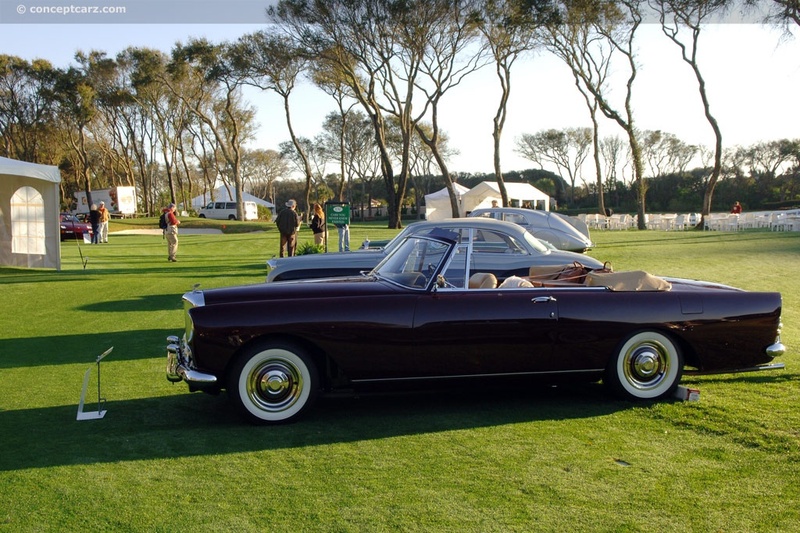 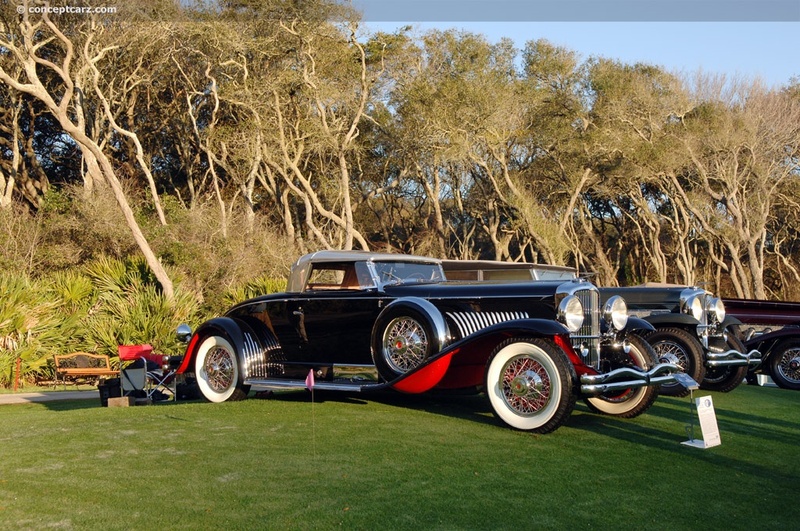 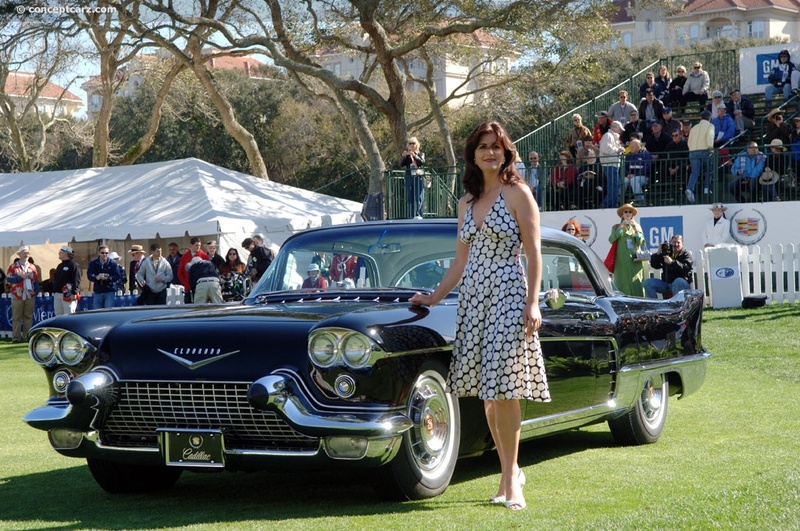 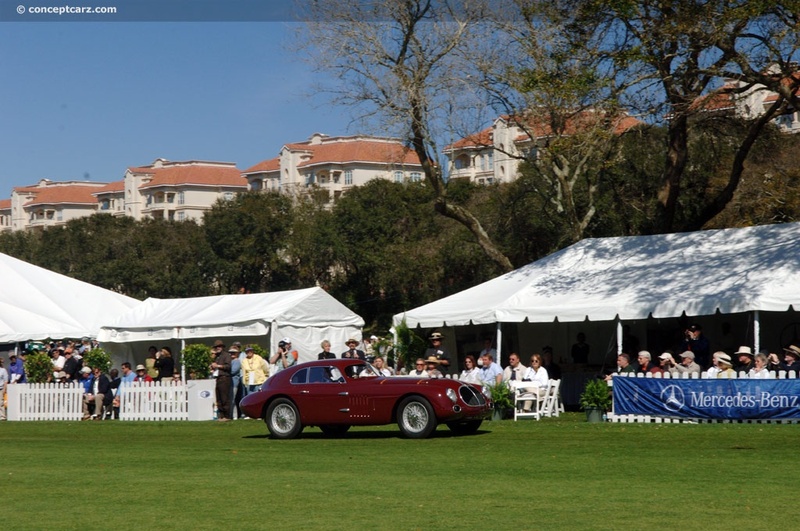 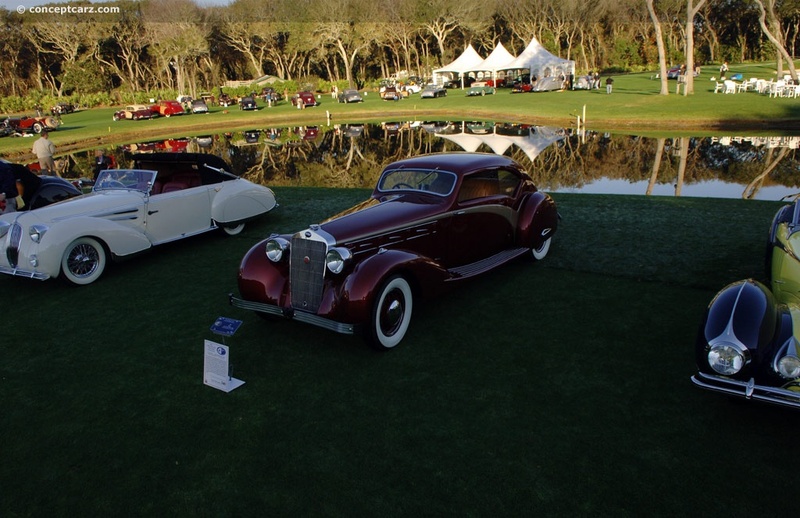 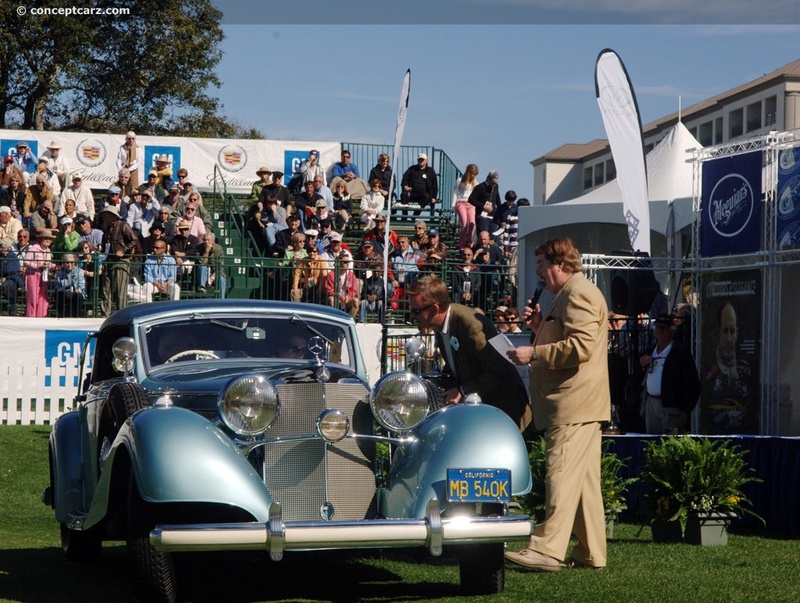 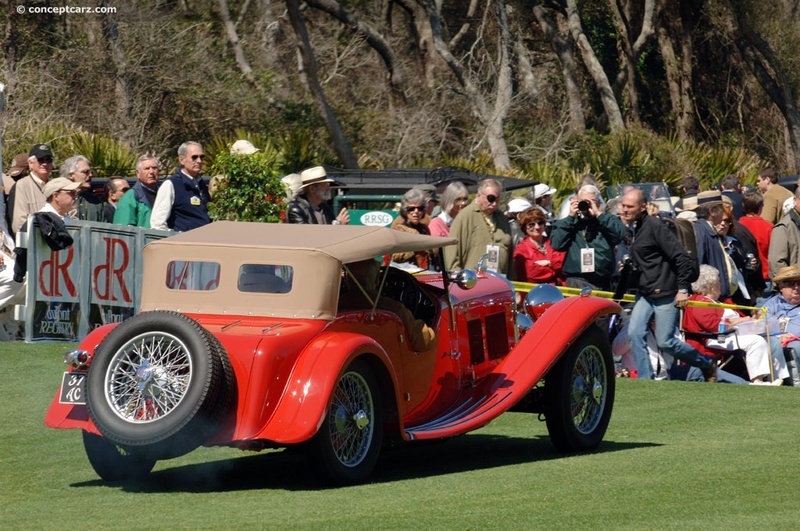 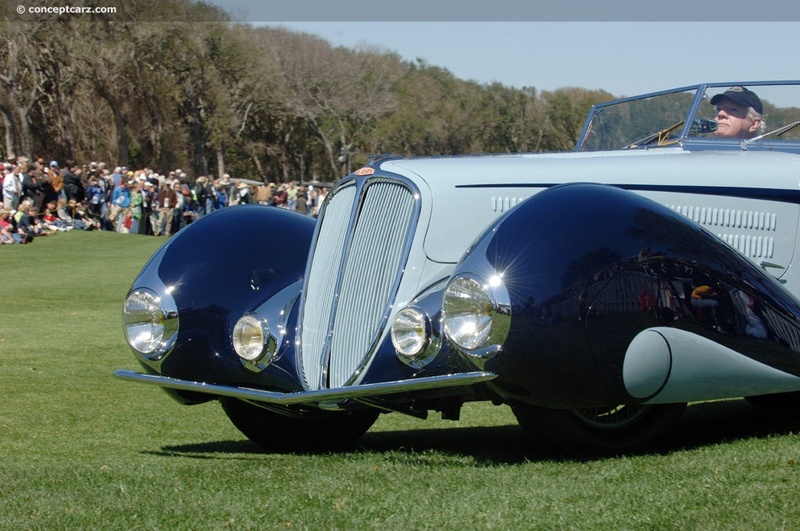 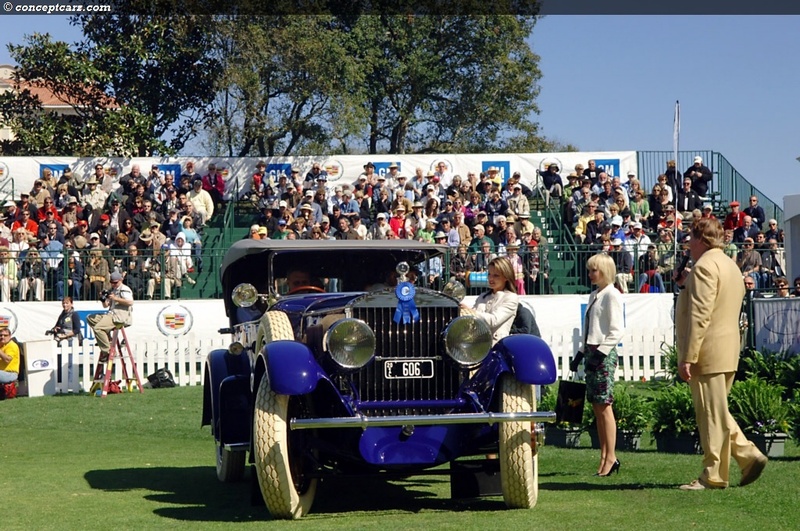 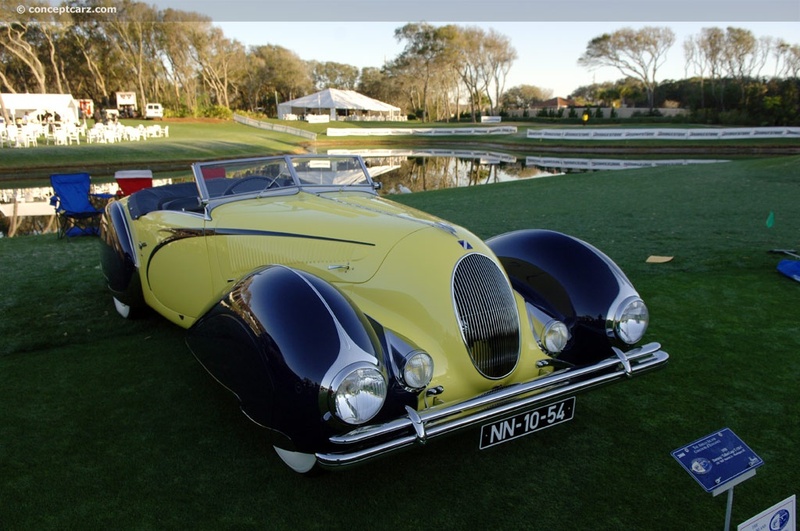 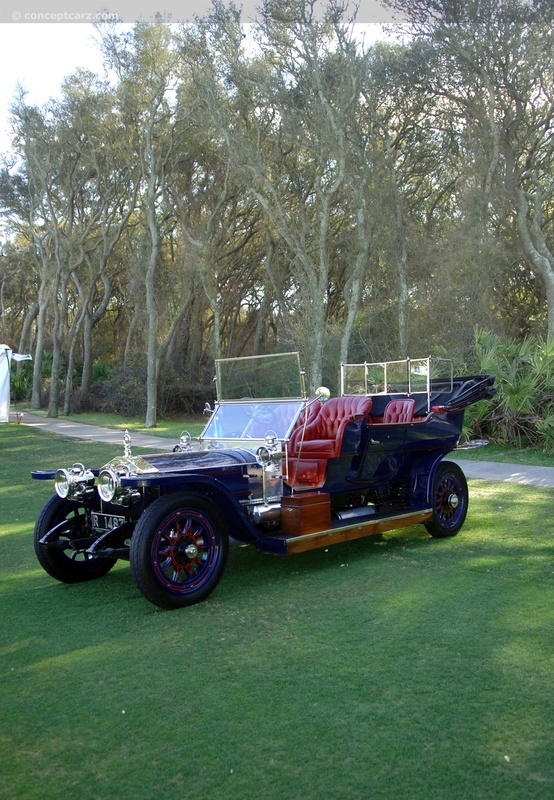 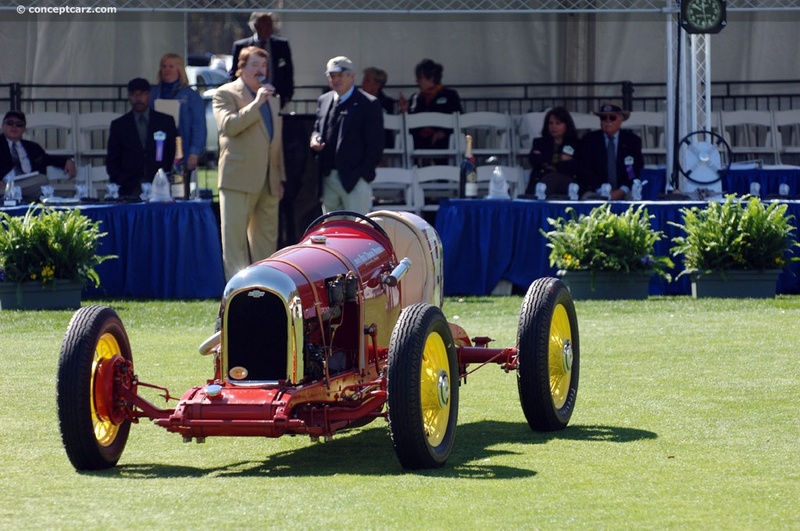 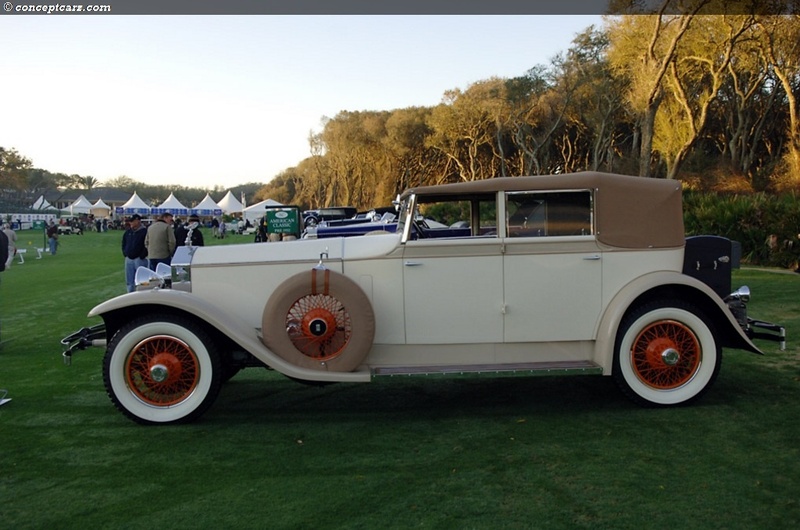 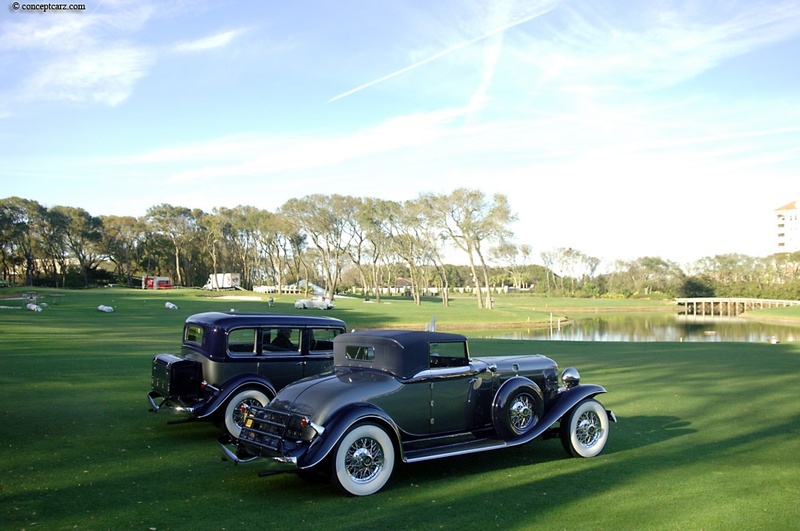 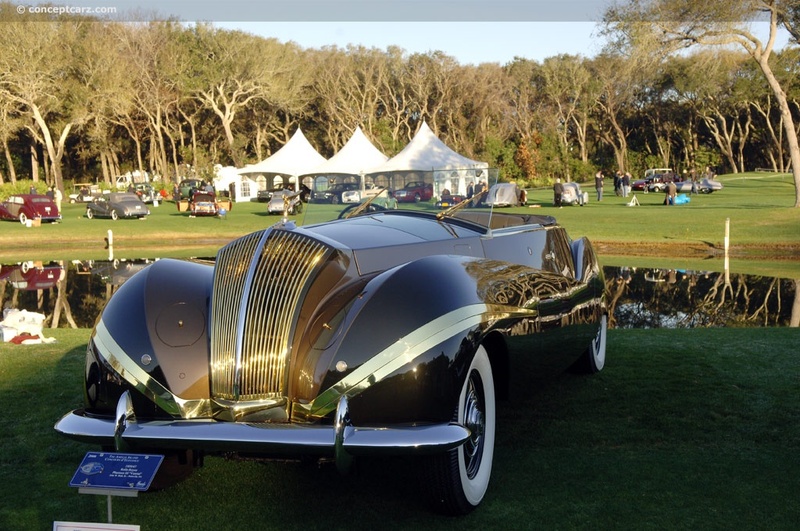 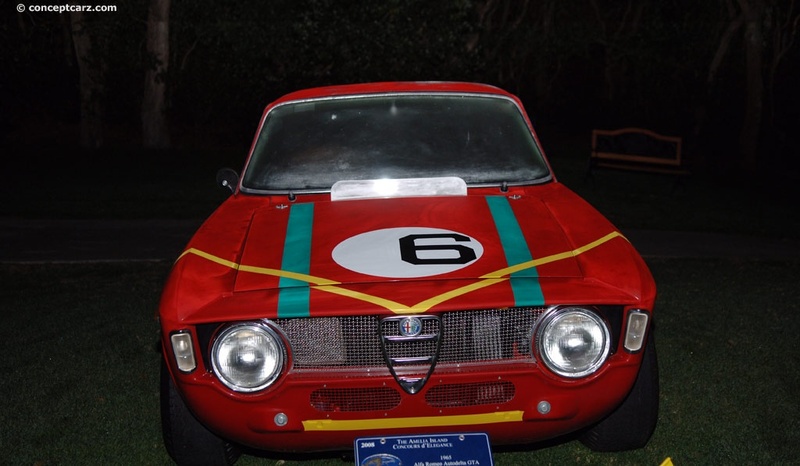 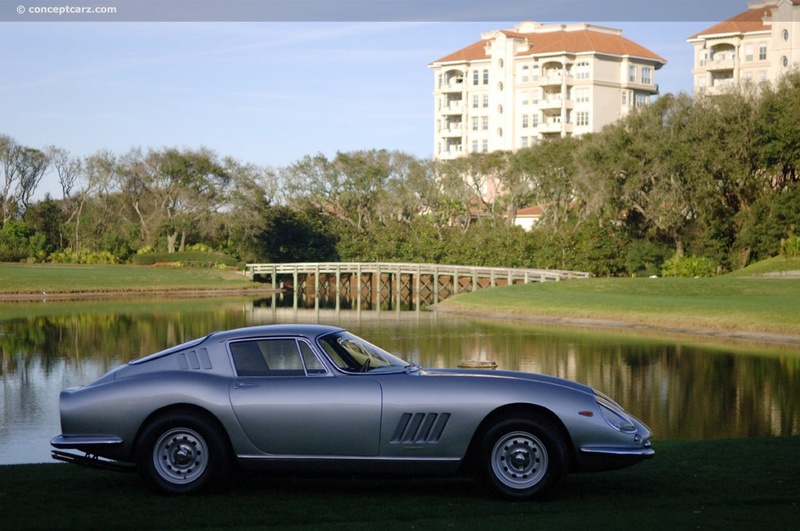 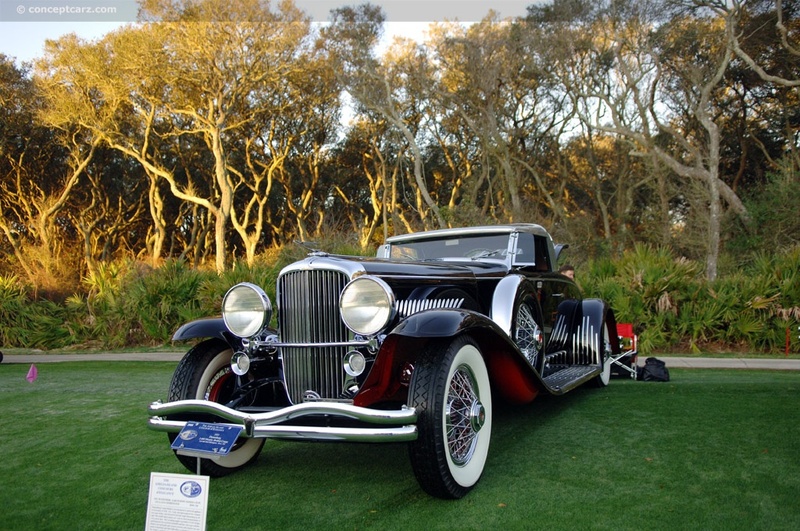 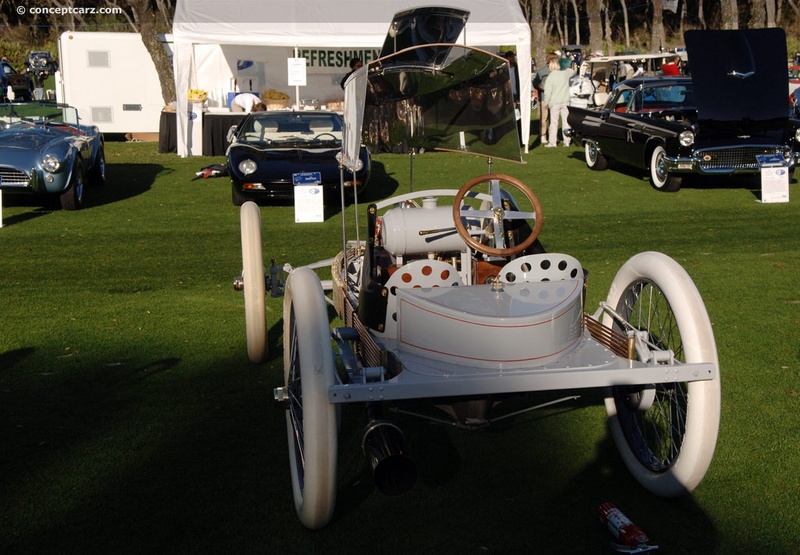 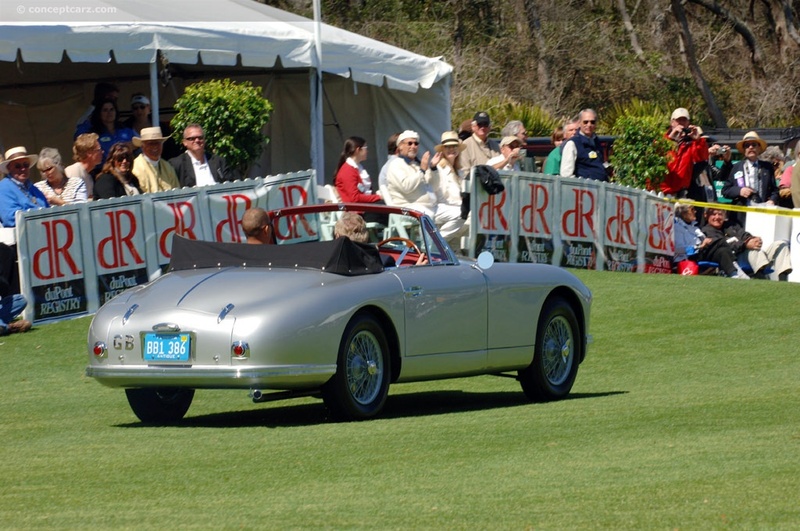 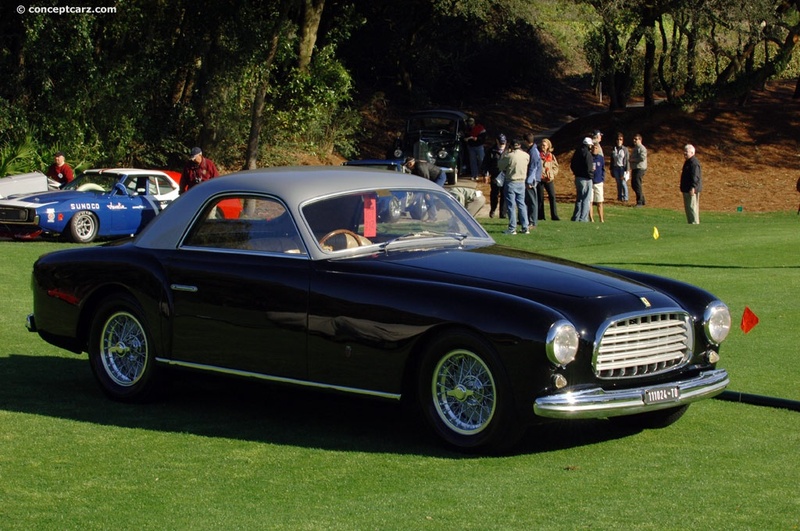 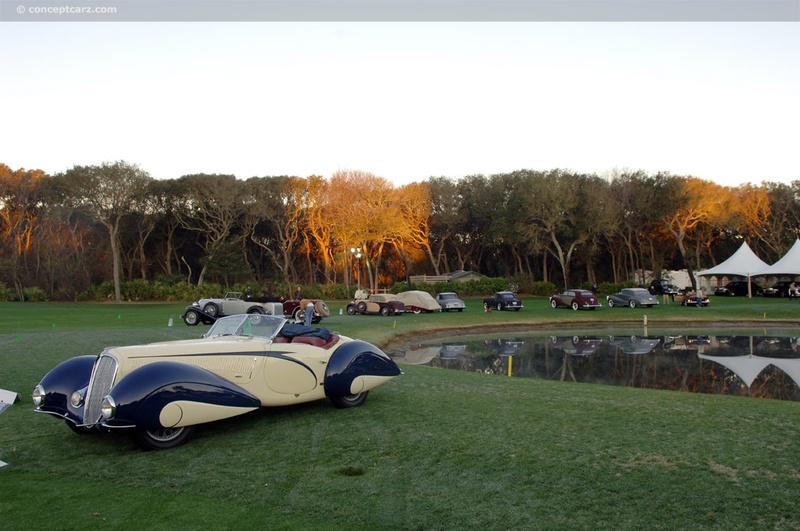 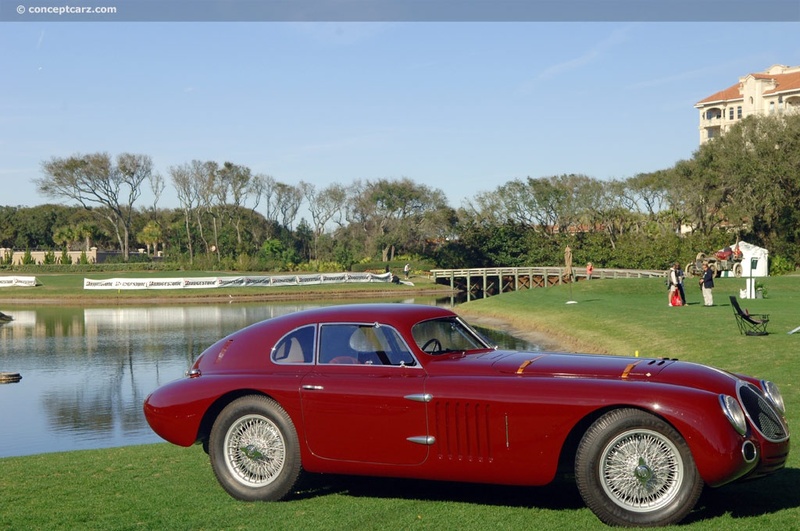 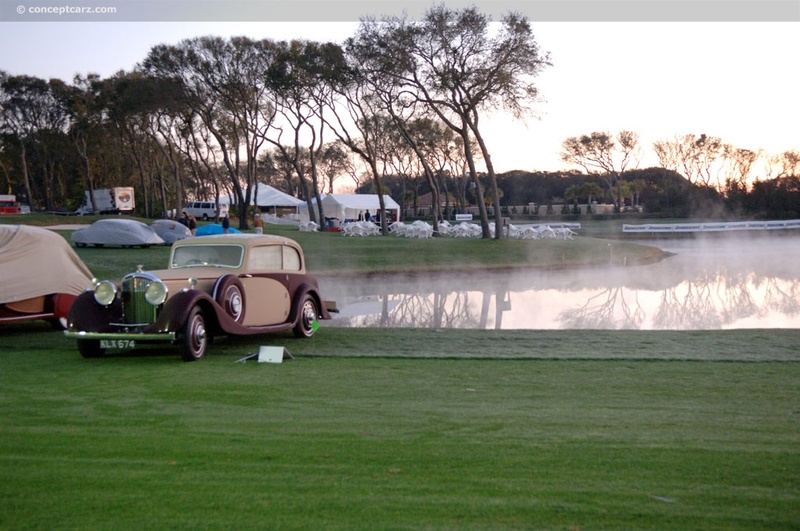 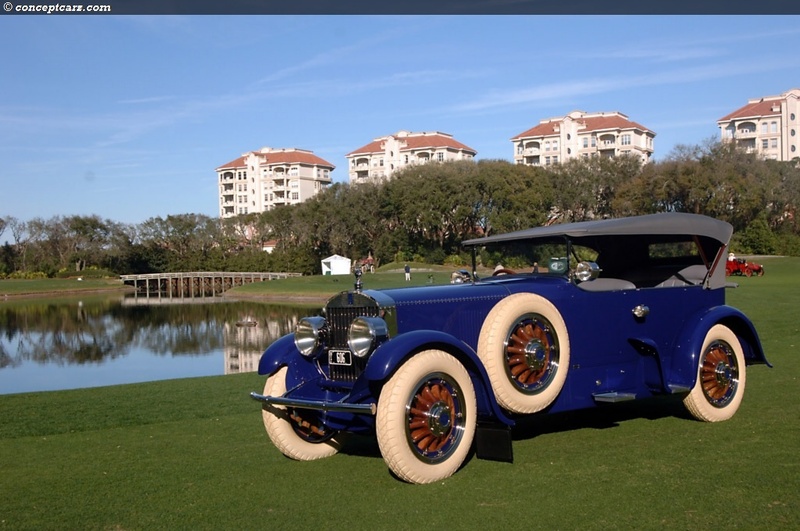 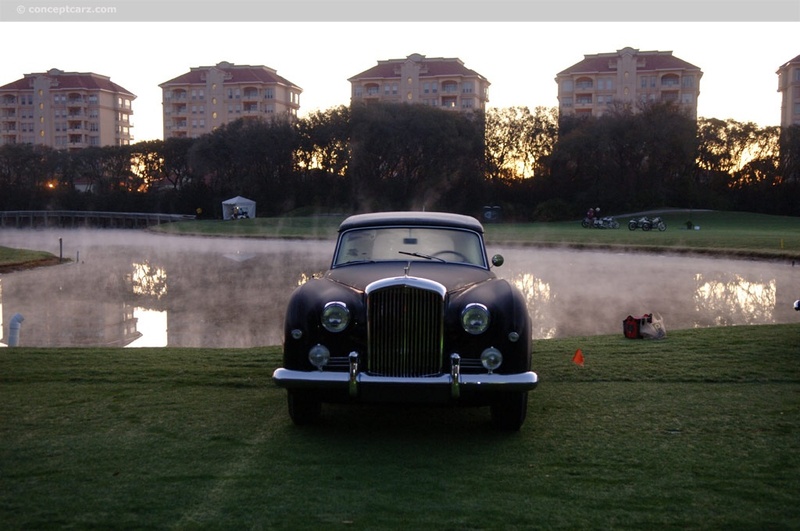 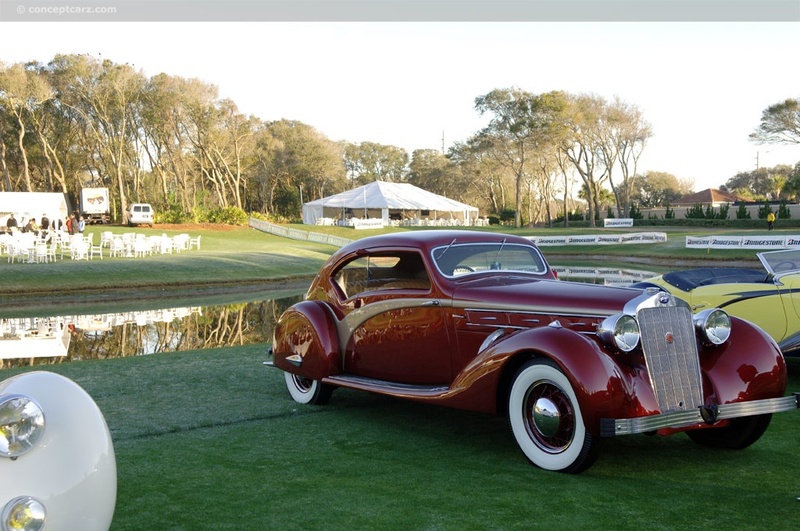 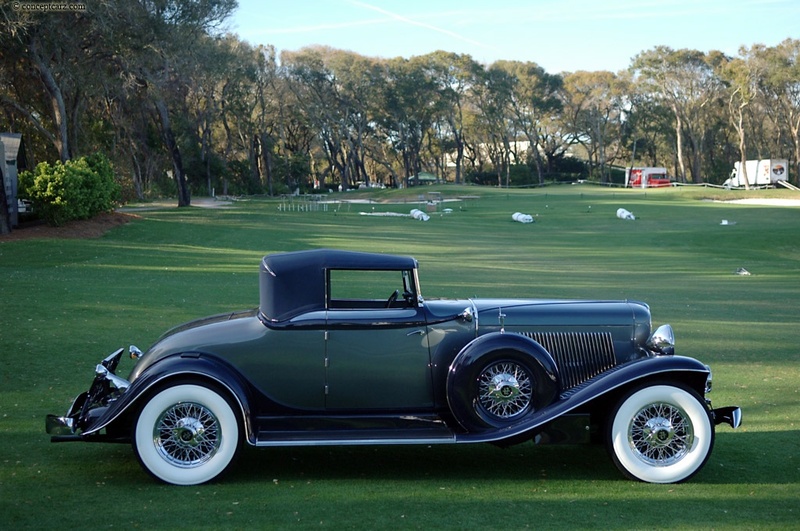 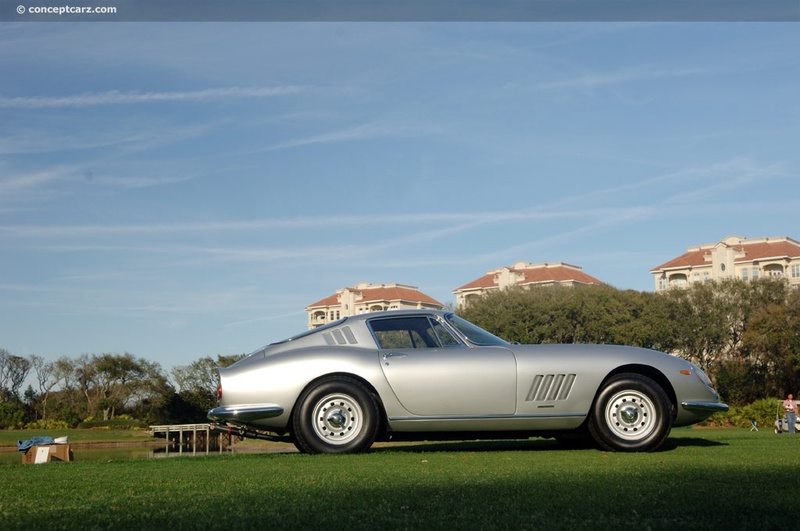 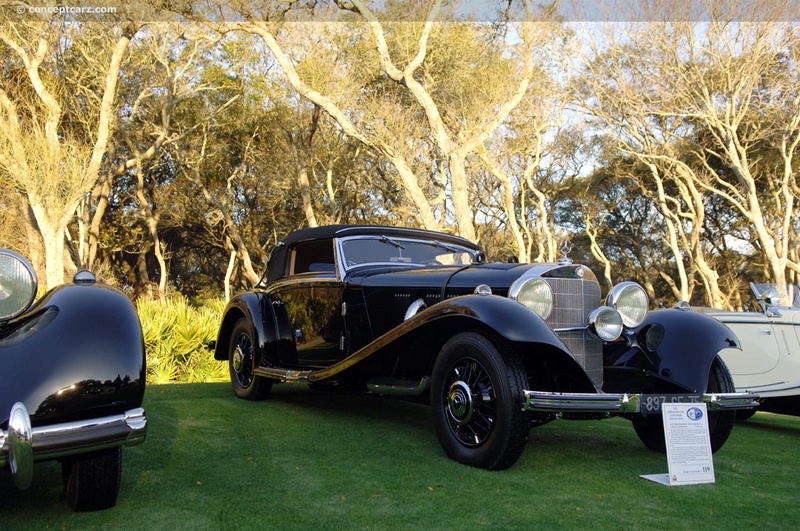 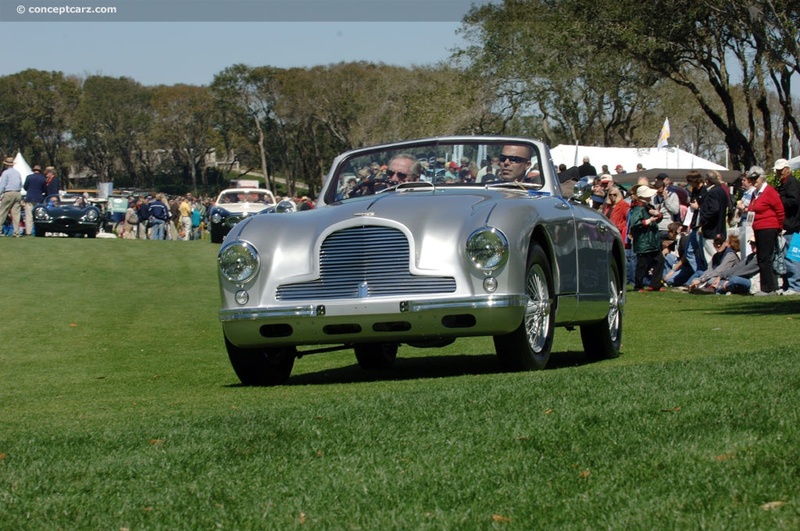 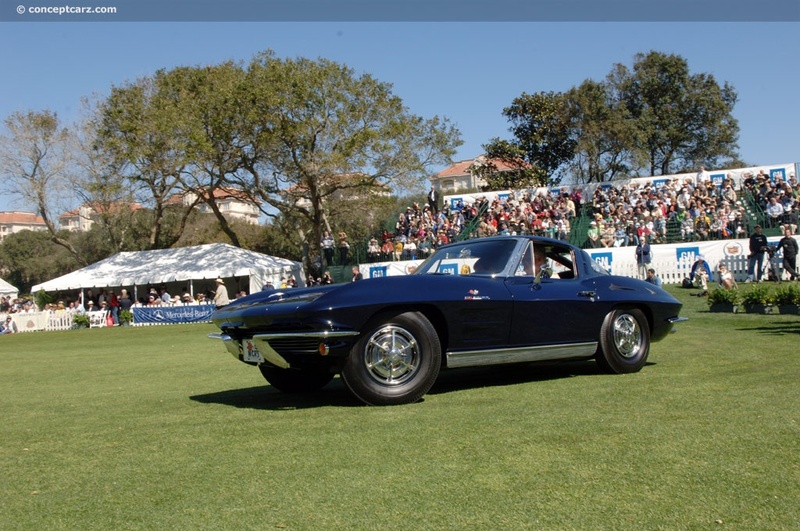 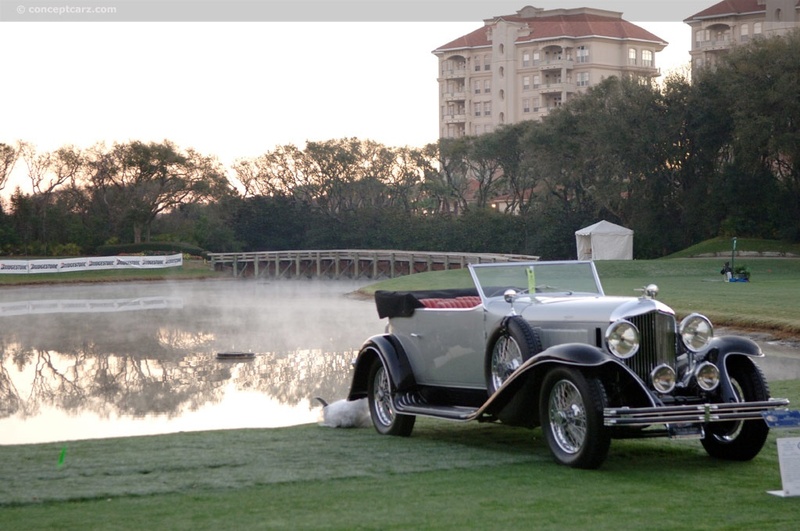 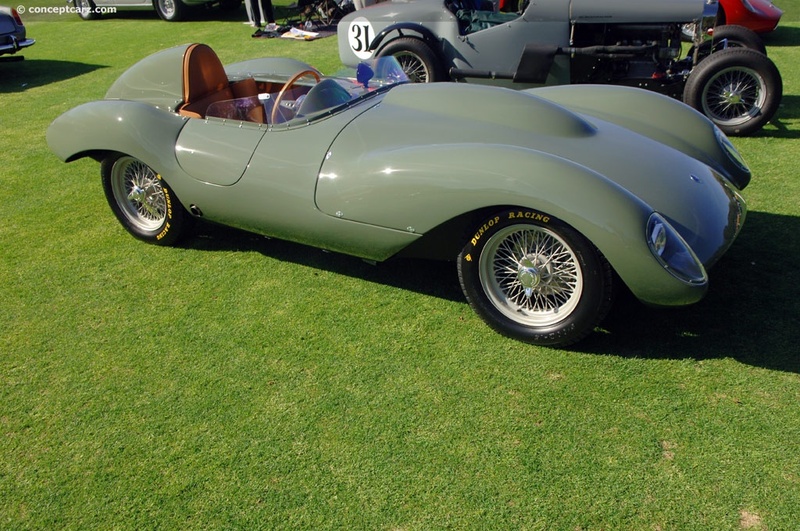 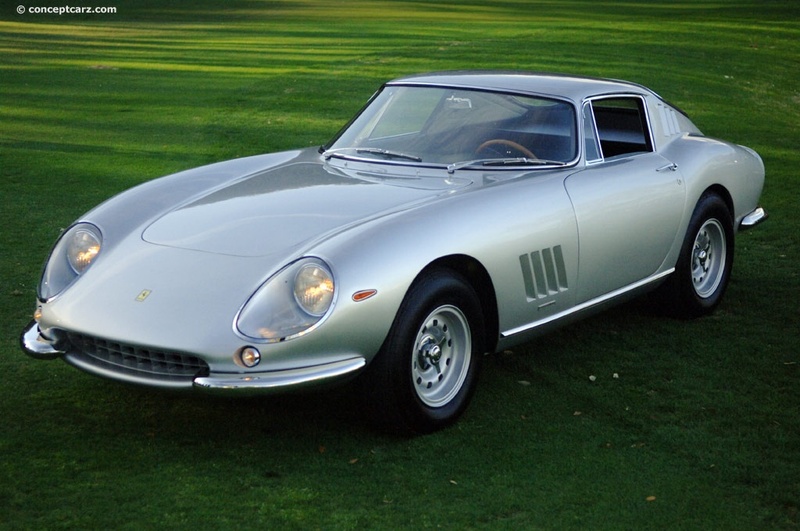 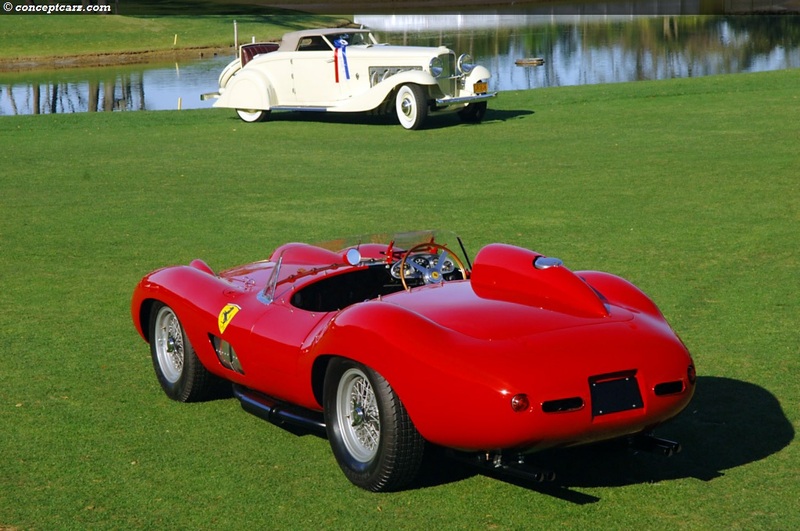 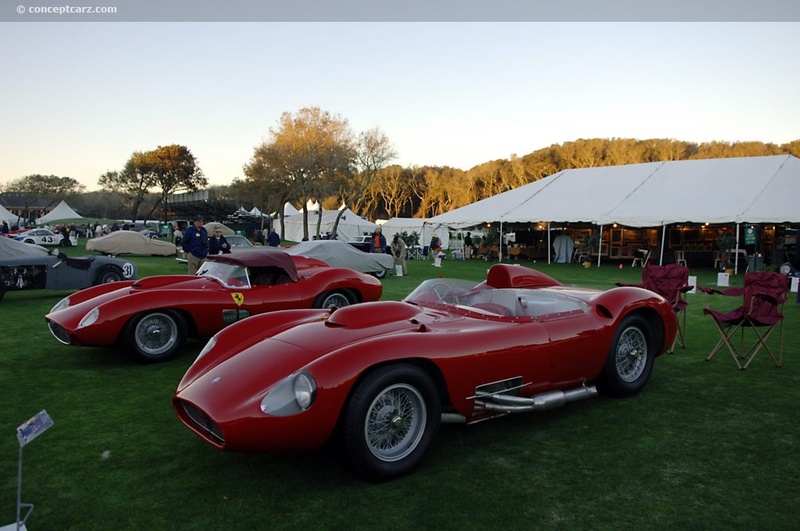 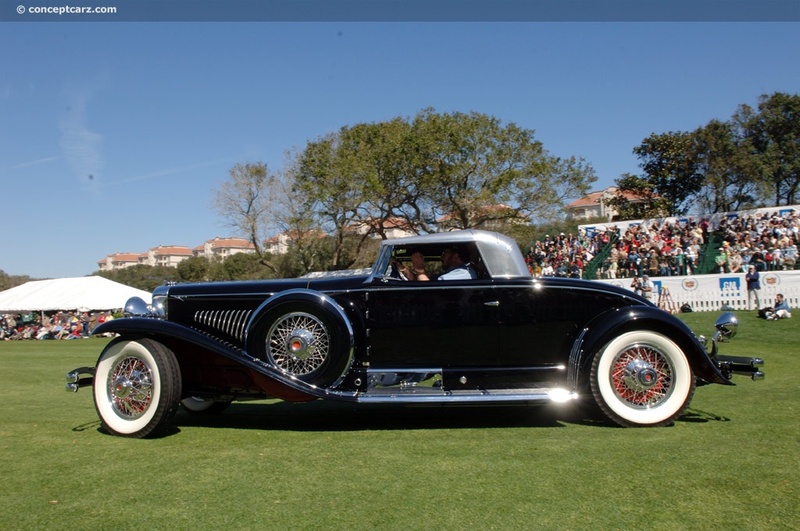 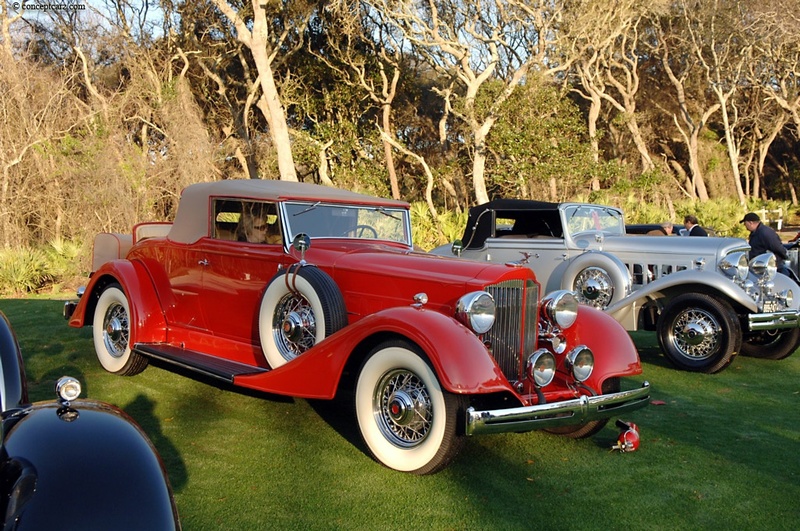 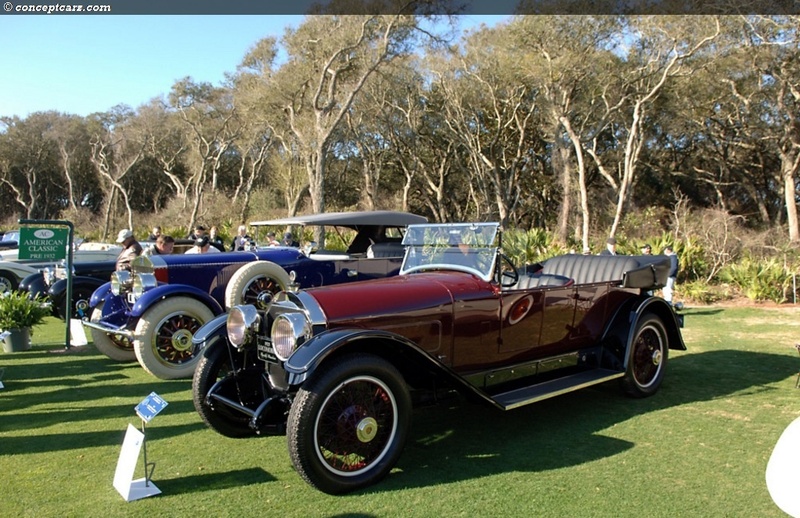 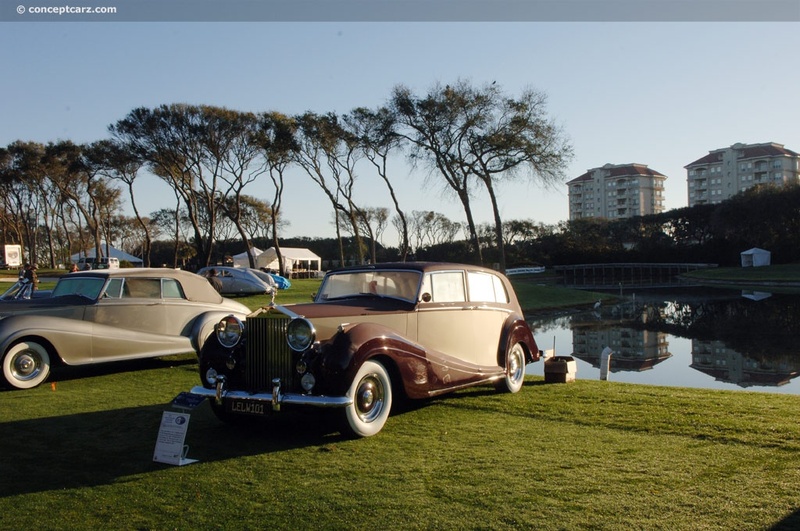 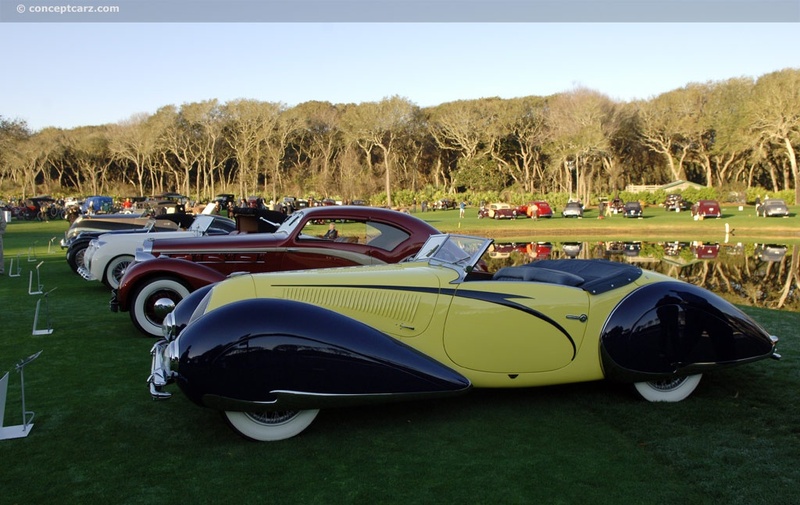 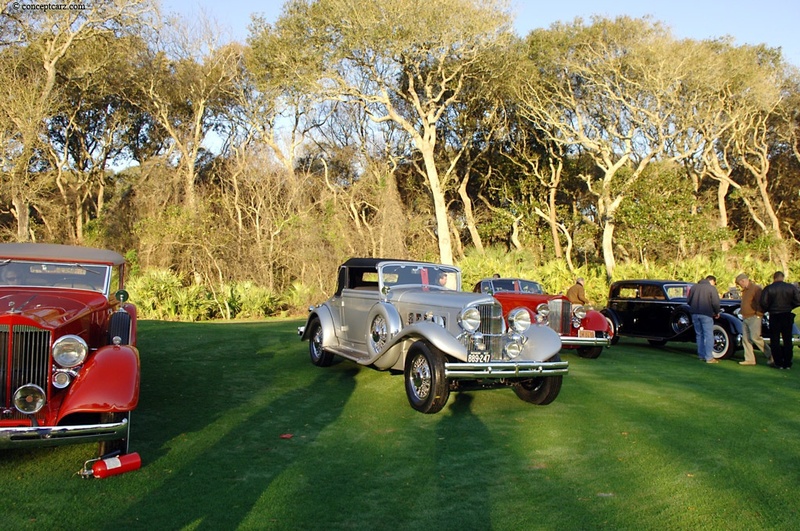 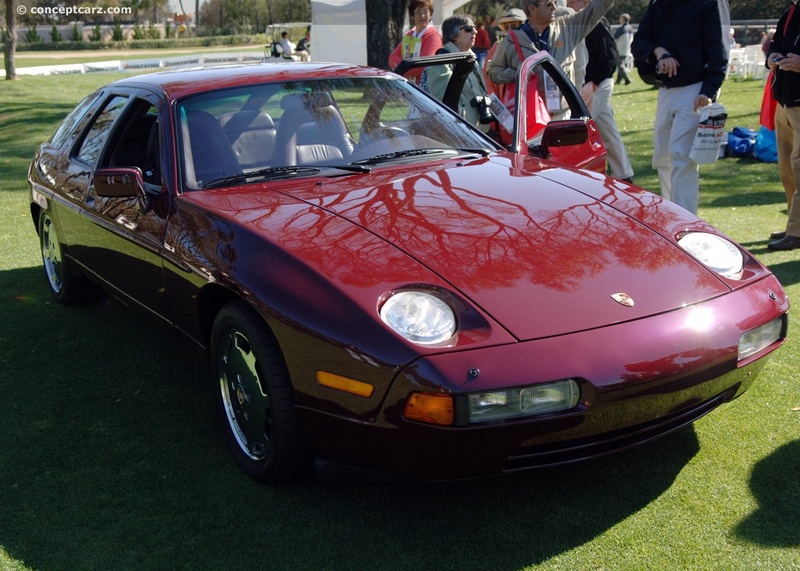 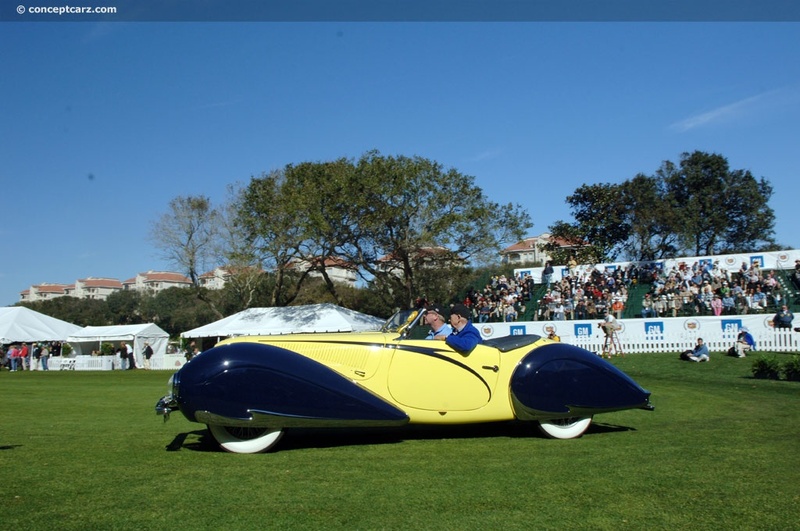 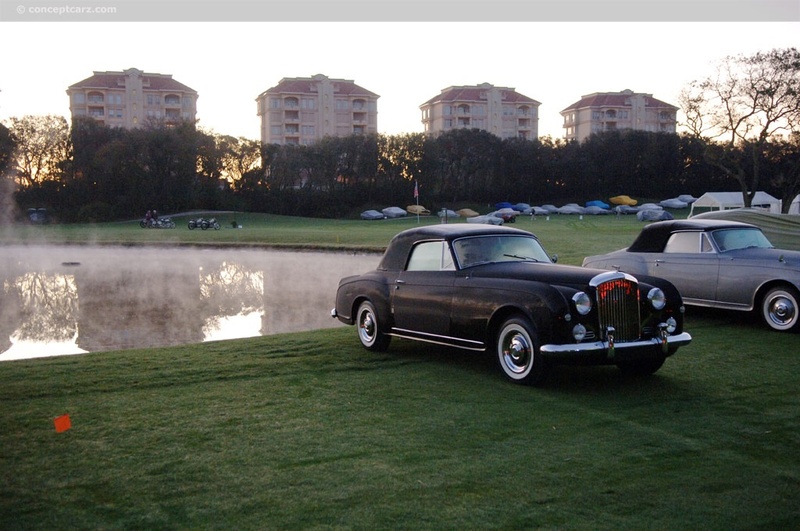 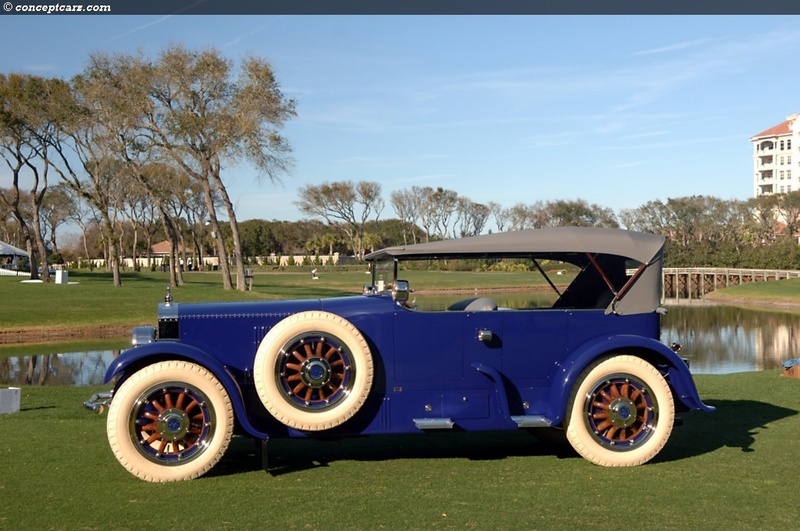 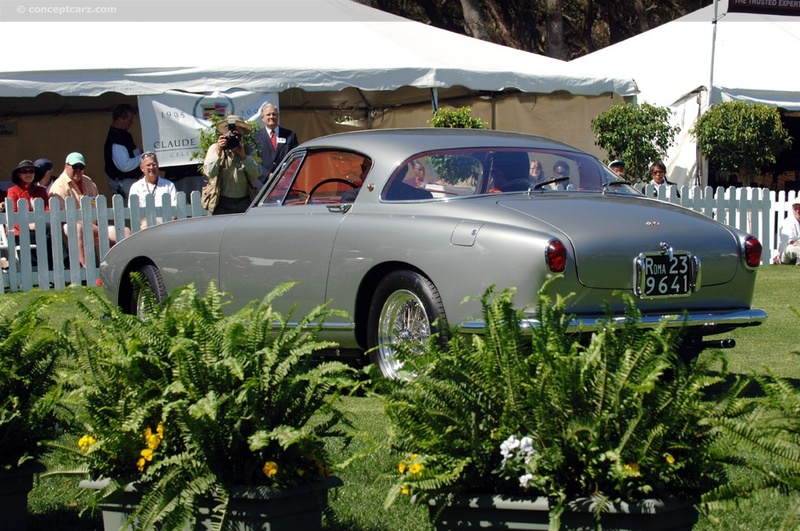 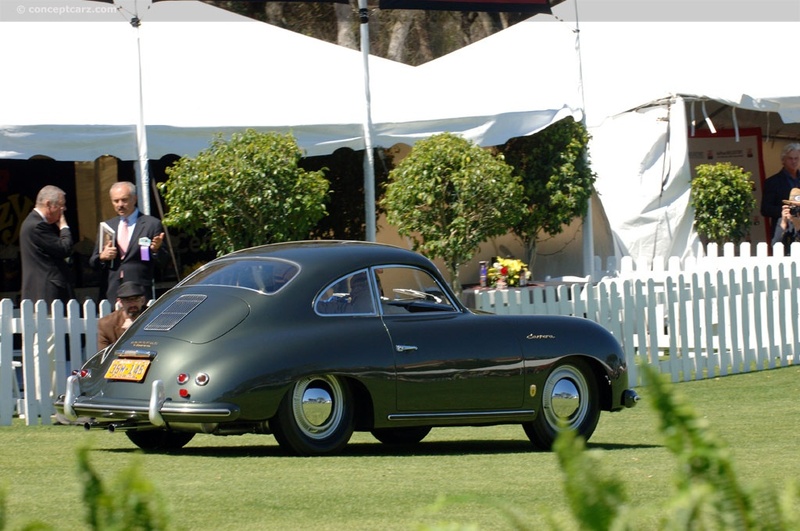 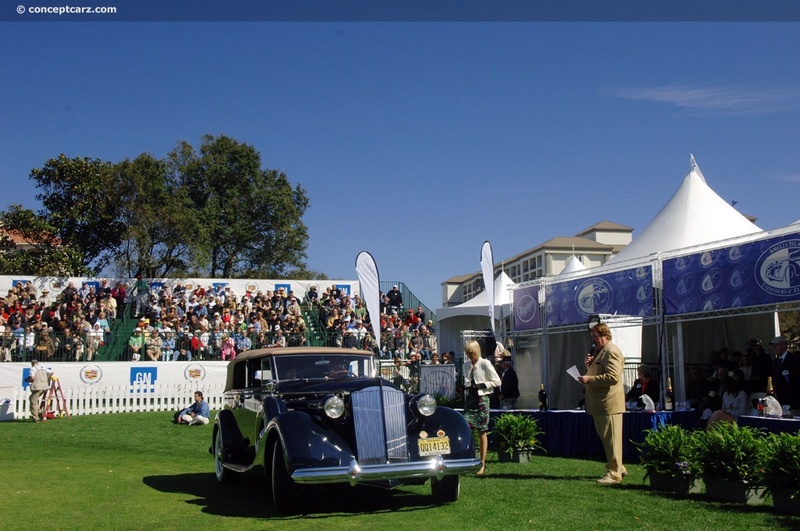 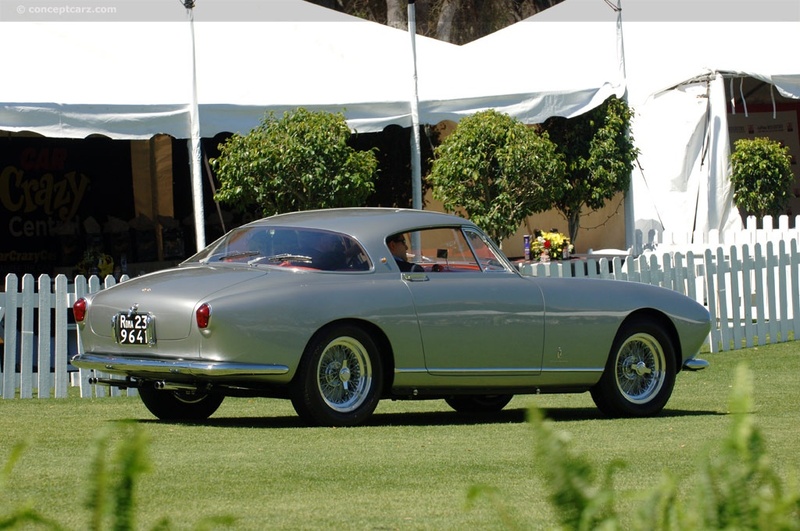 The Amelia Island Concours awards two 'Best of Show'. 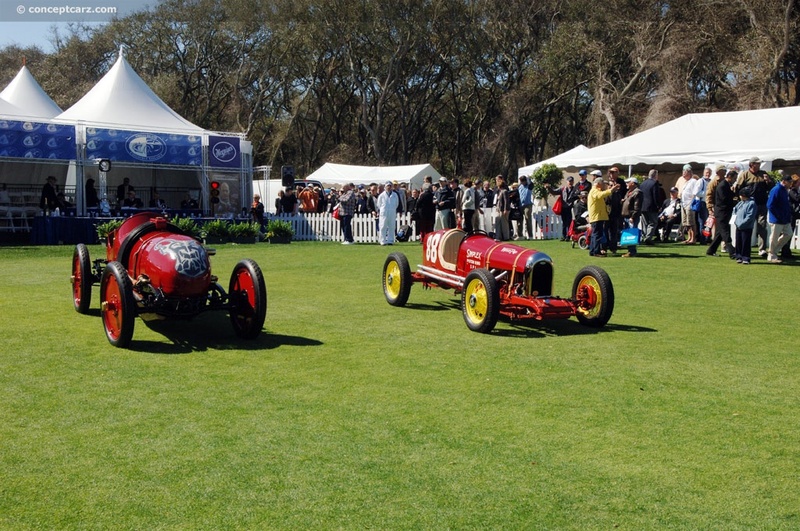 One is for 'Concours d Elegance' and the other is for 'Concours de Sport'. 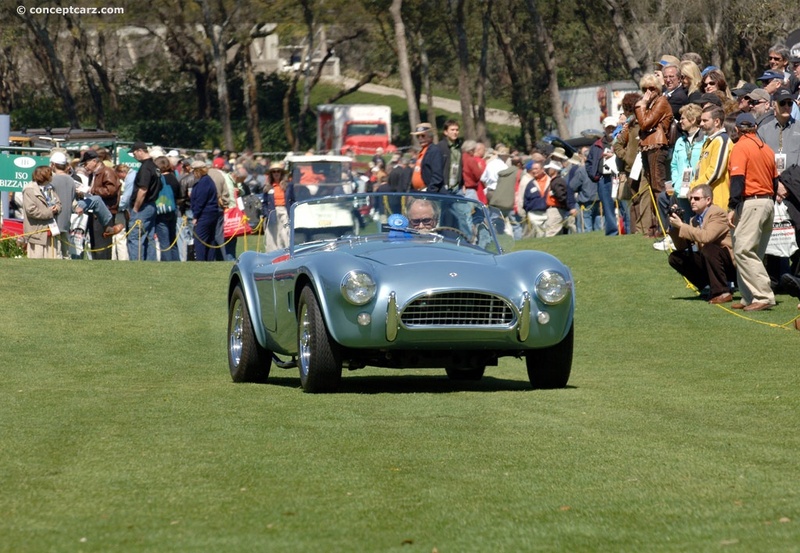 There were thirty seven classes and over 300 vehicles for which the judges were tasked with selecting the best-of-the-best. 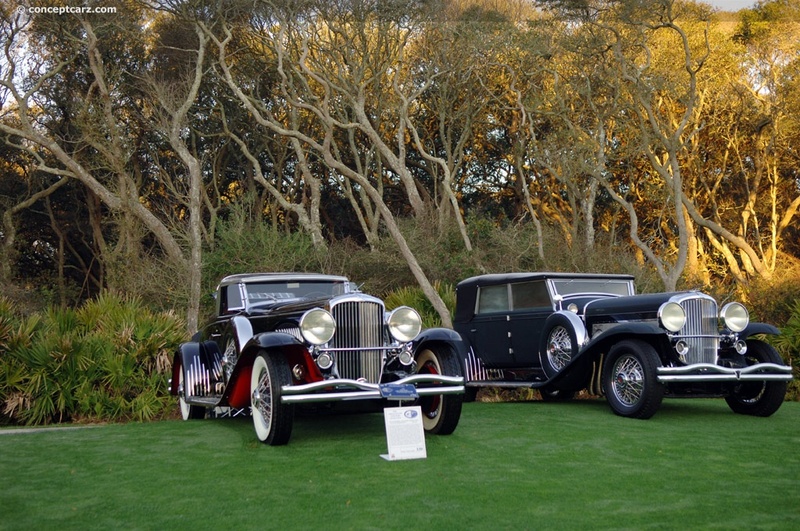 In terms of elegance, there was certainly no shortage. 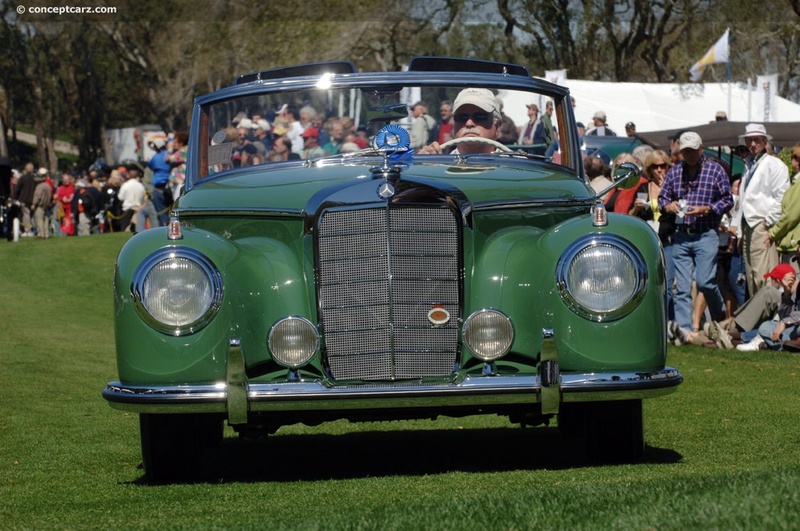 From the pre-war Mercedes-Benz, the graceful European coachwork, and the awe-inspiring Duesenbergs (to name a few), the judges certainly had a vast selection of potential candidates. 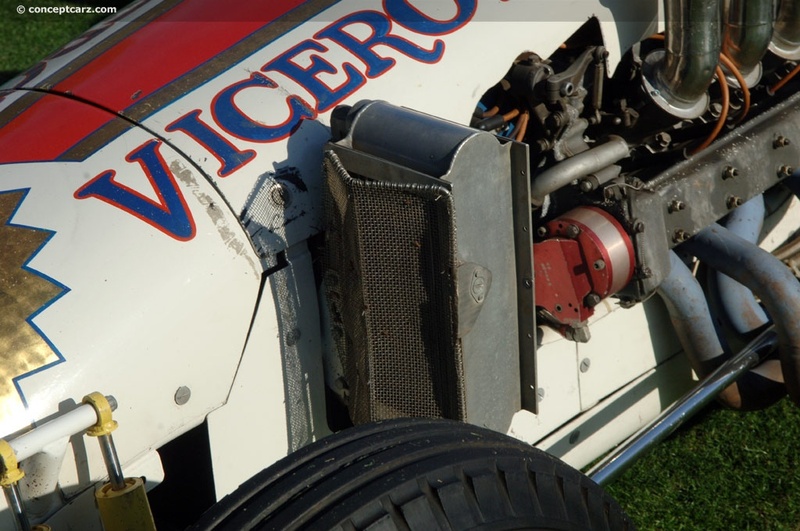 In equal respects, there was no shortage of racing heritage on the field; many encompassed both elegance and racing accomplishments. 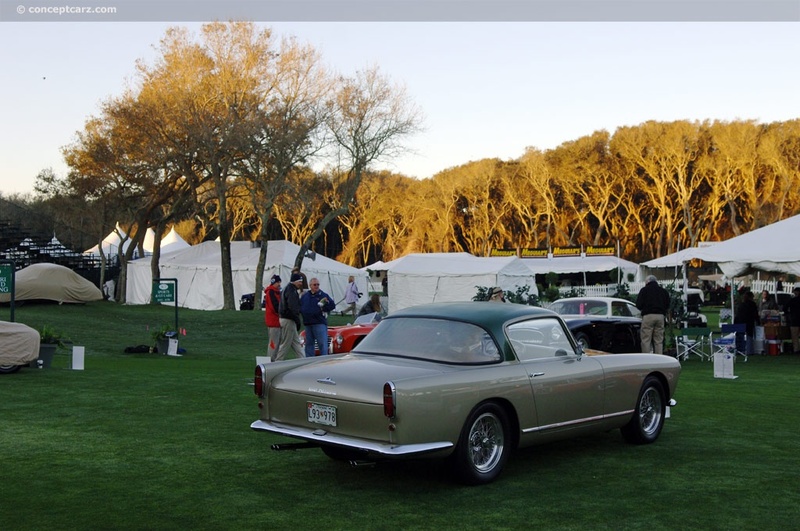 As the event was coming to a close and the announcement was getting closer, the sun was sitting higher in the sky than usual due to Daylight Savings. 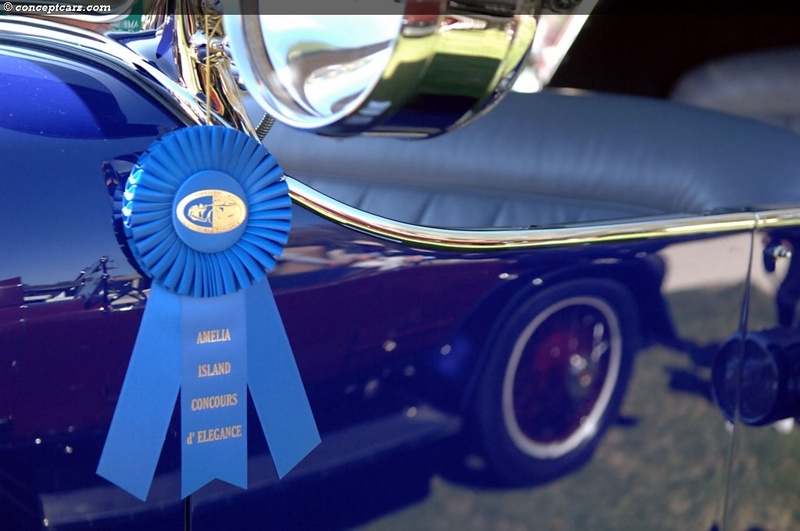 The audience had been waiting all day for the Best of Show, watching the 100+ cars make their way to the Judges Stand and receive their award. 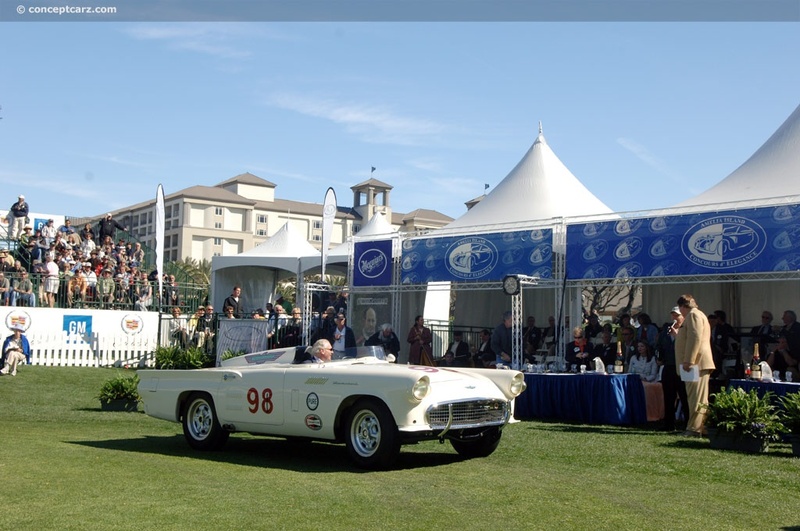 The panel of judges consisted of nearly 100 individuals, each with a resume that is unrivaled in their industry. 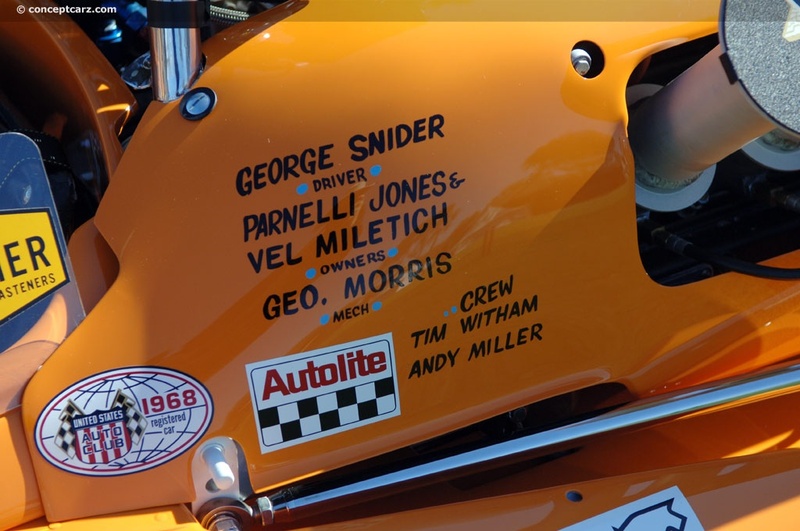 They are magazine editors, racing legends, top collectors, and among the most knowledgeable and seasoned automotive individuals in the industry. 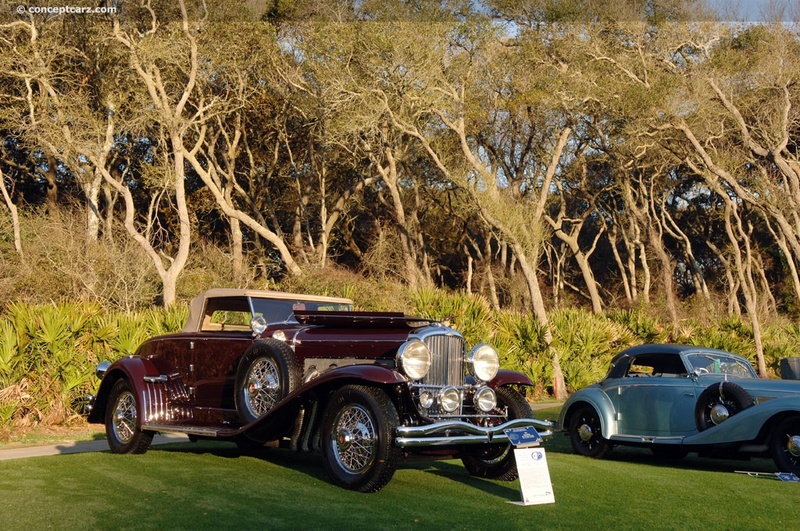 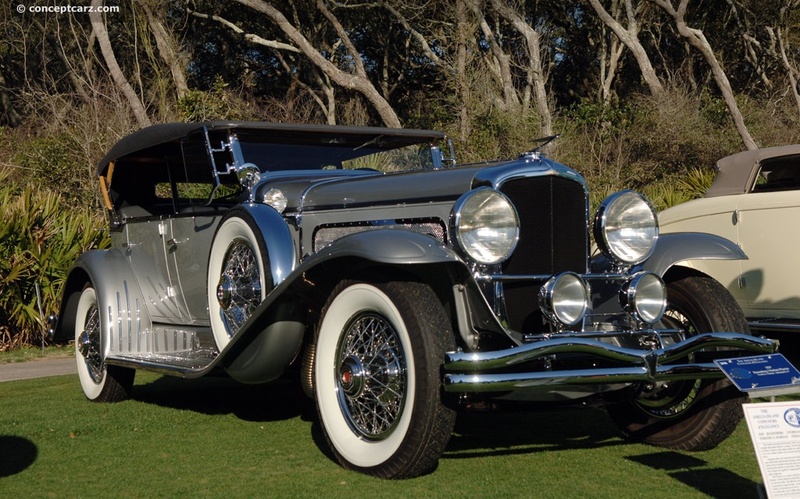 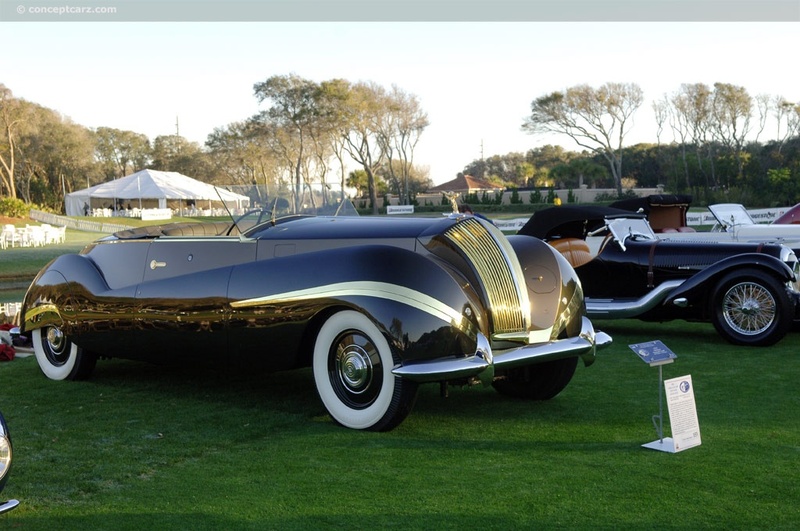 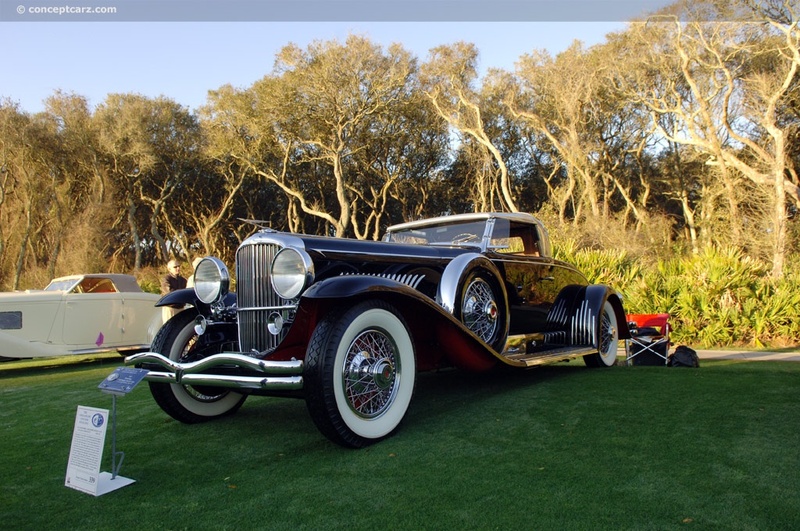 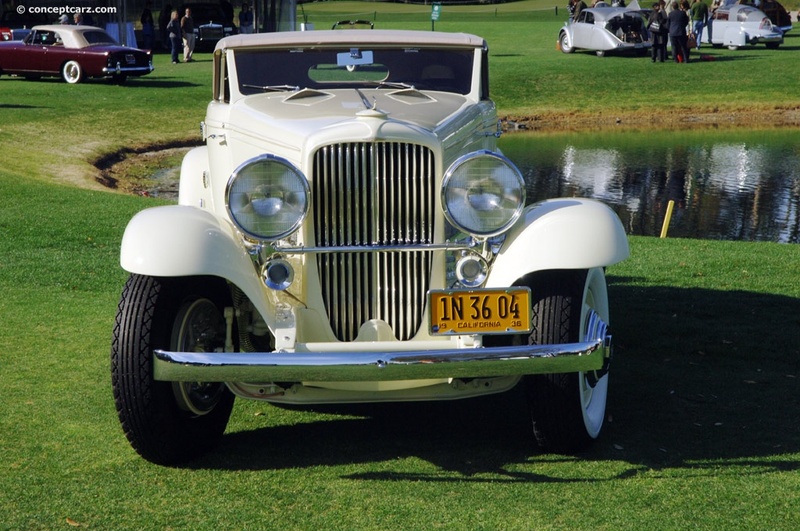 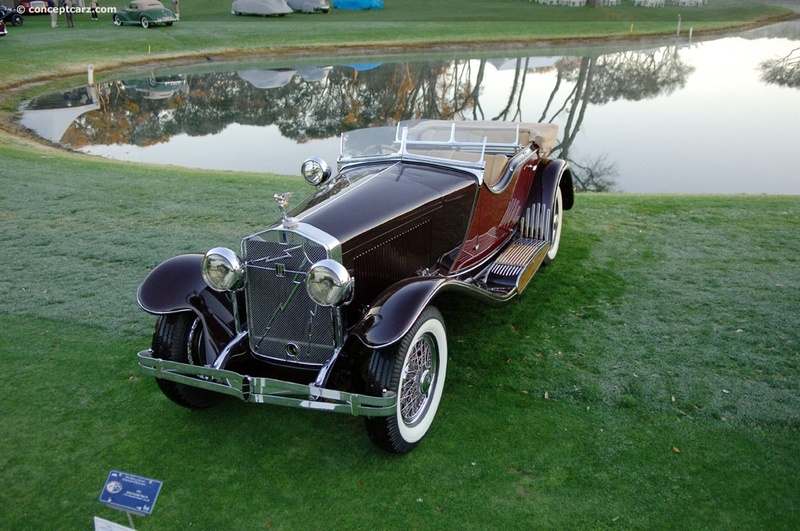 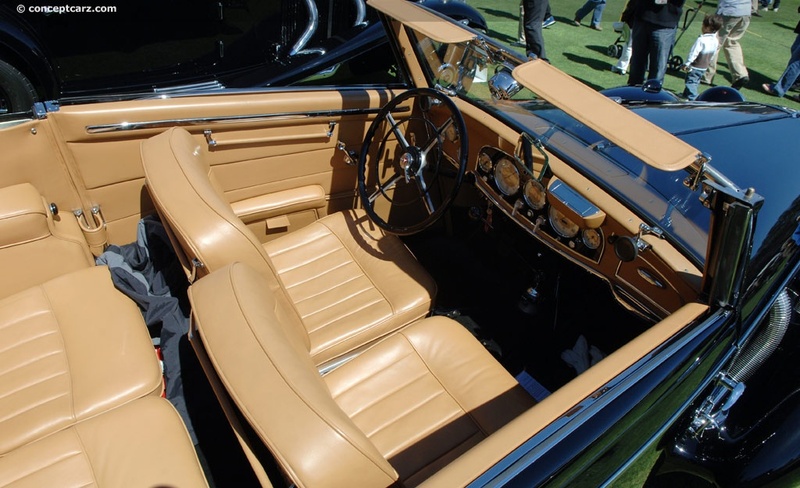 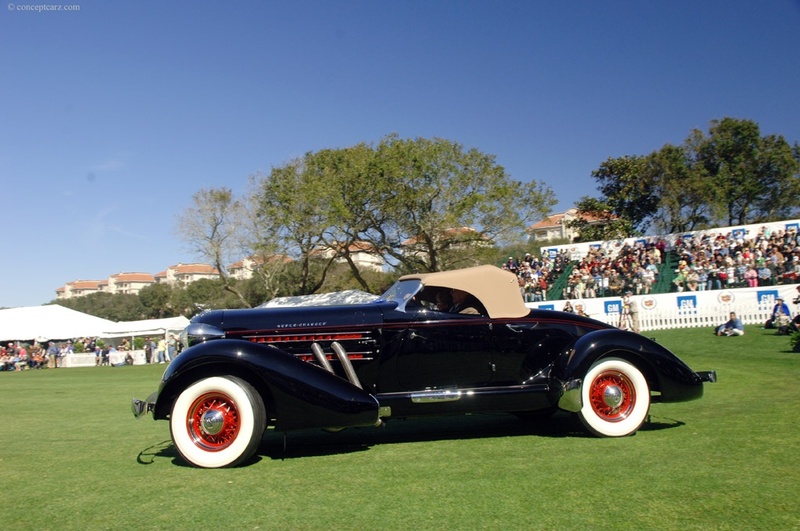 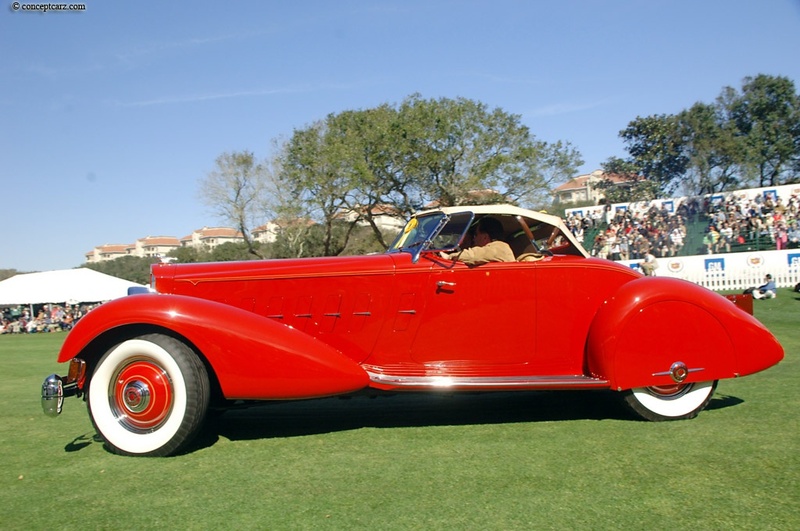 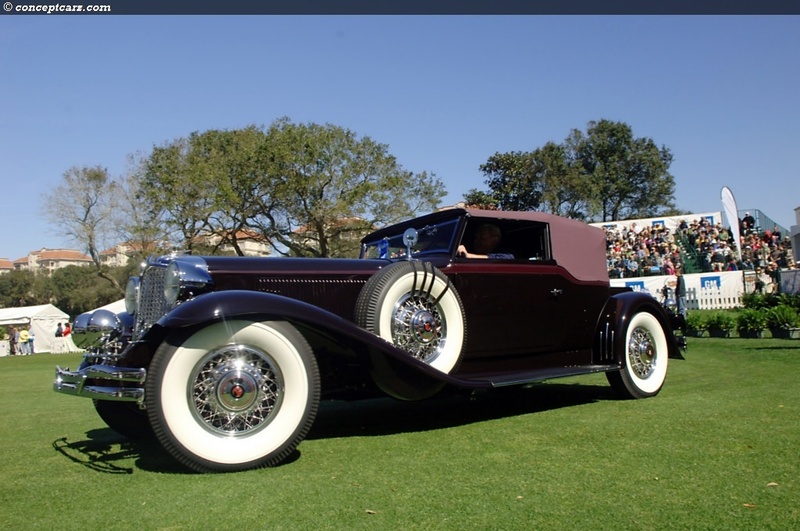 From their collective wisdom they chose the Duesenberg Model J Convertible Coupe with coachwork by Bohman & Schwarz as their 'Concours d Elegance.' 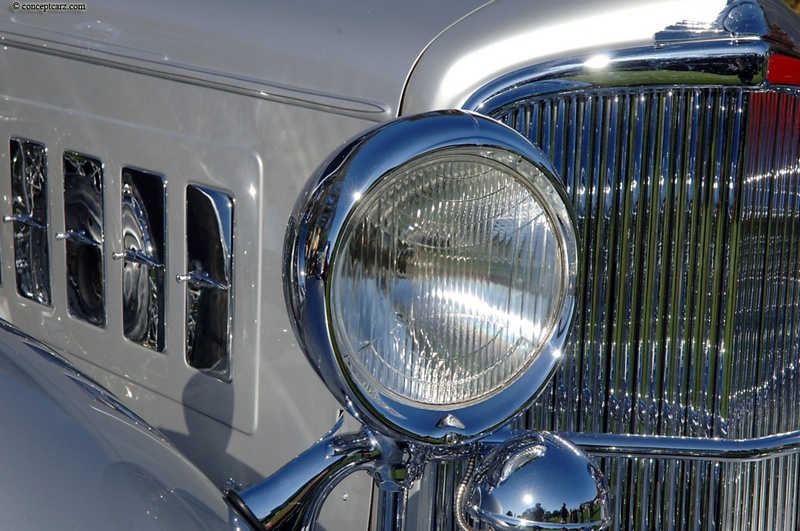 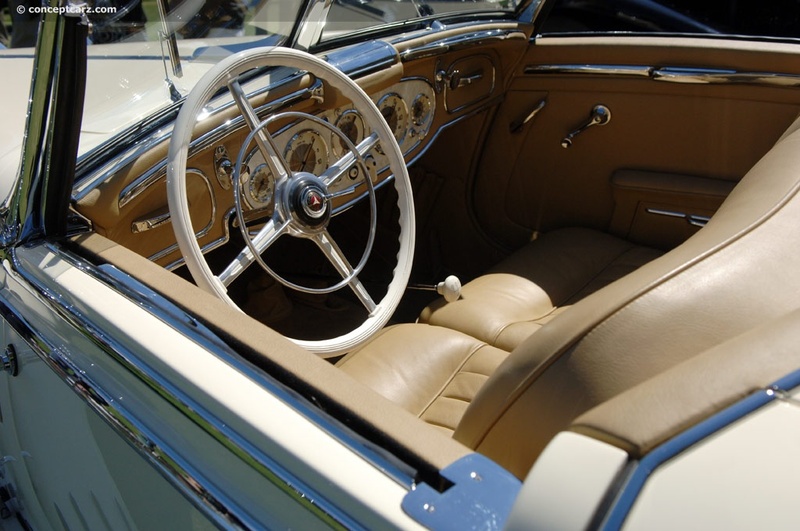 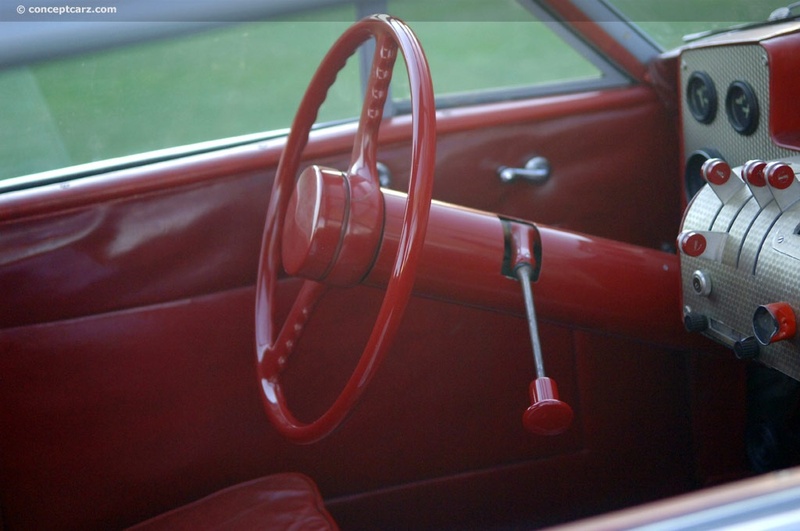 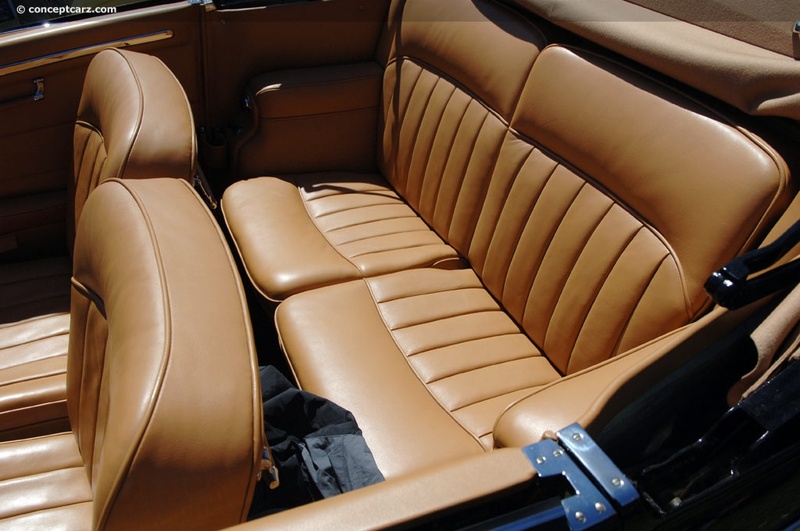 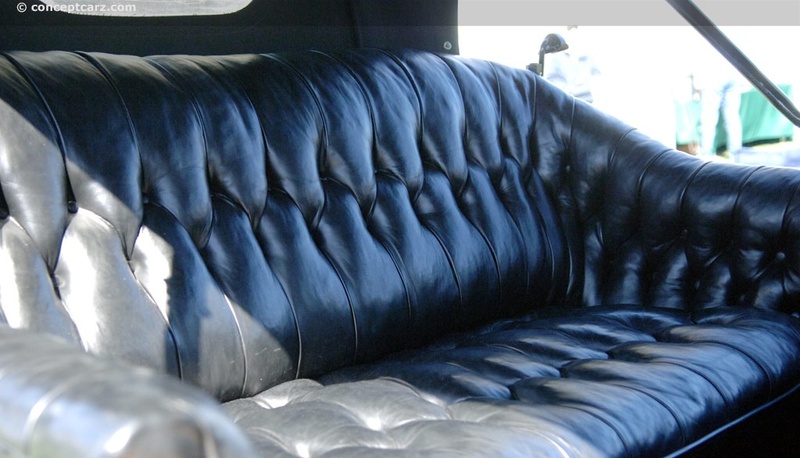 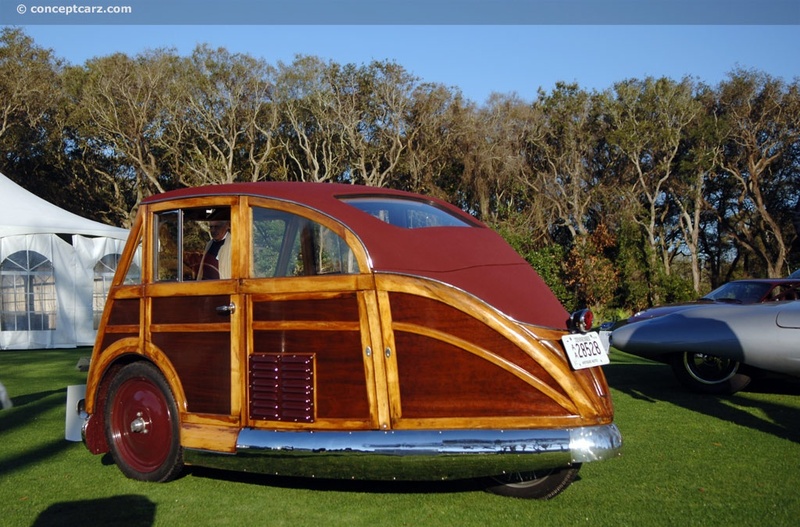 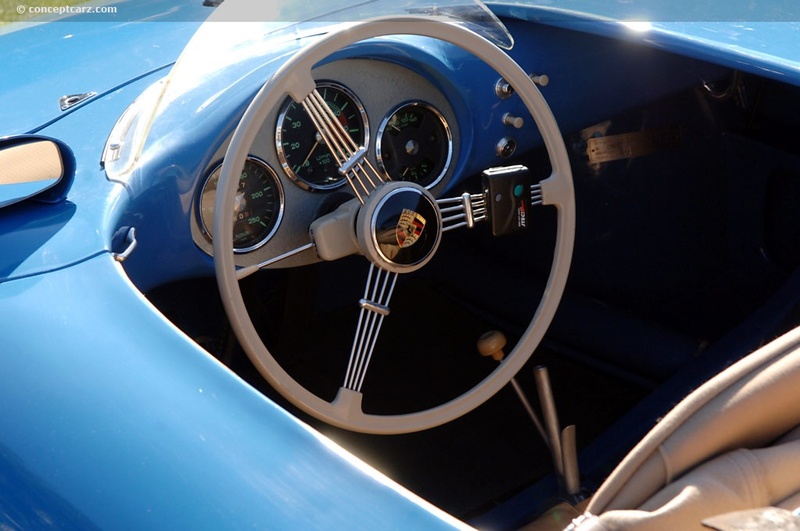 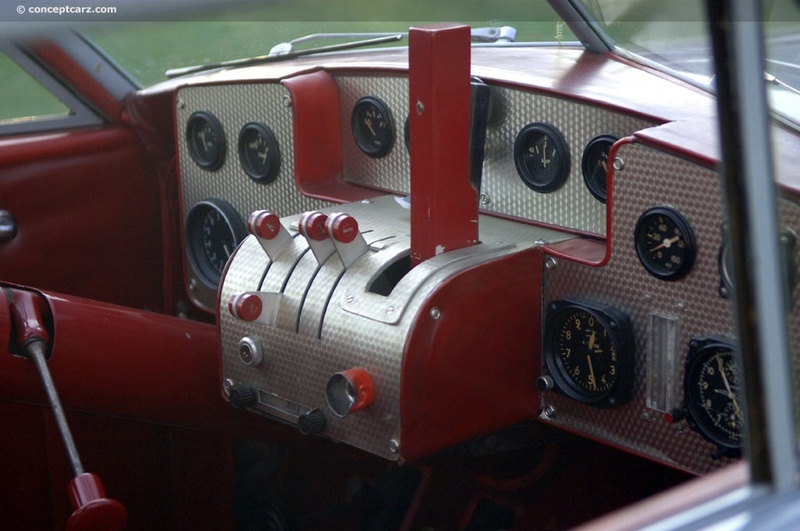 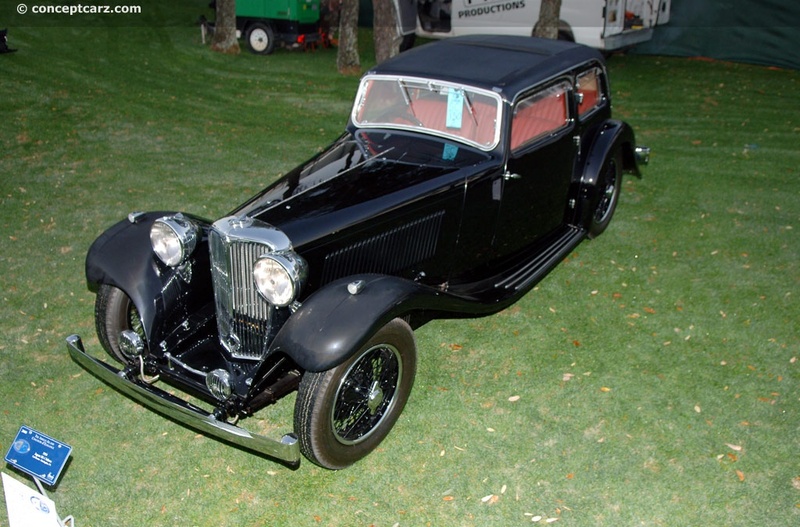 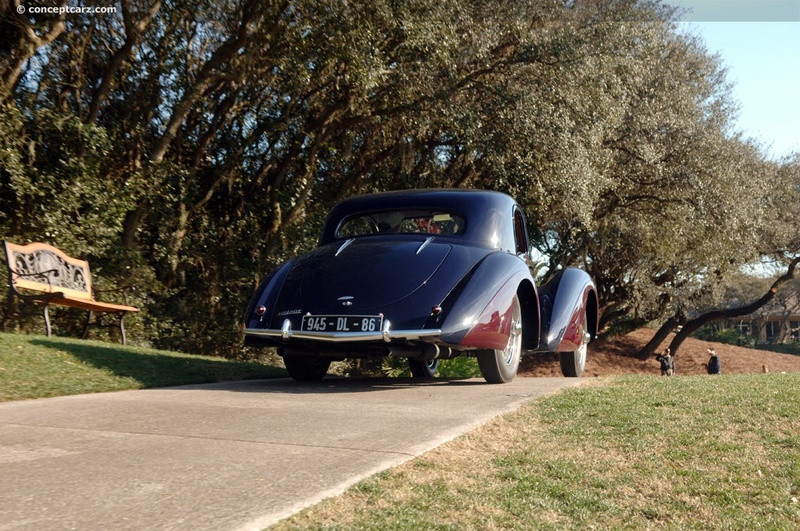 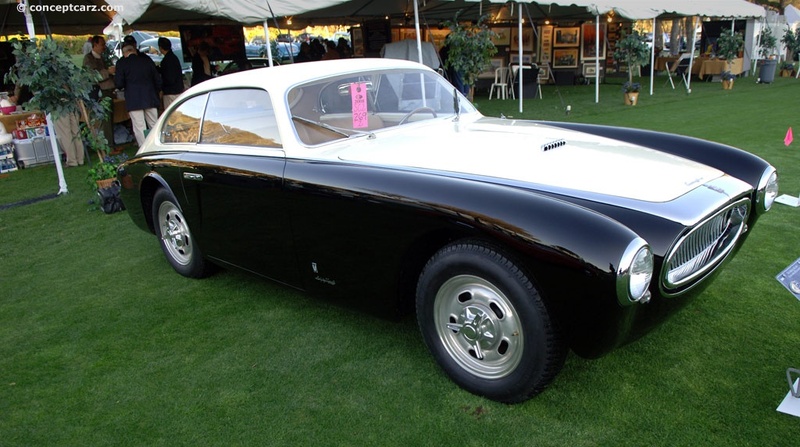 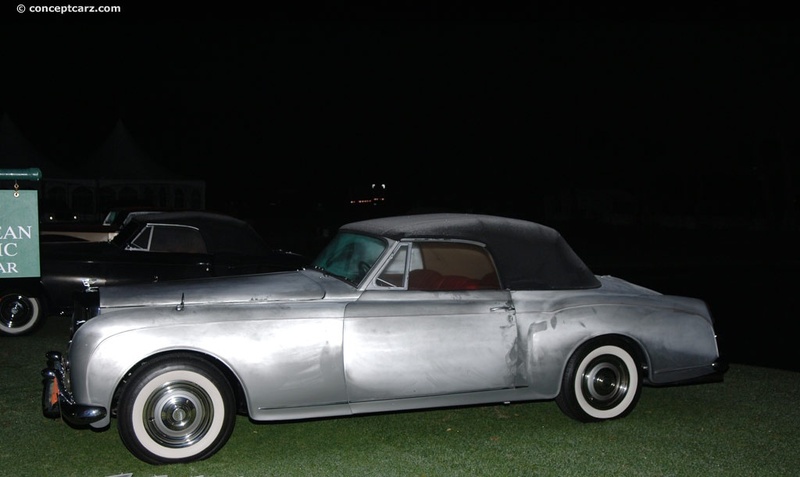 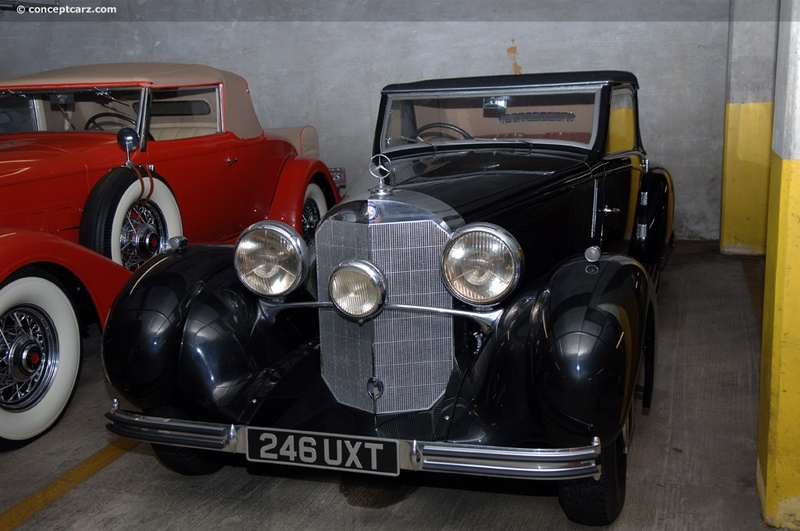 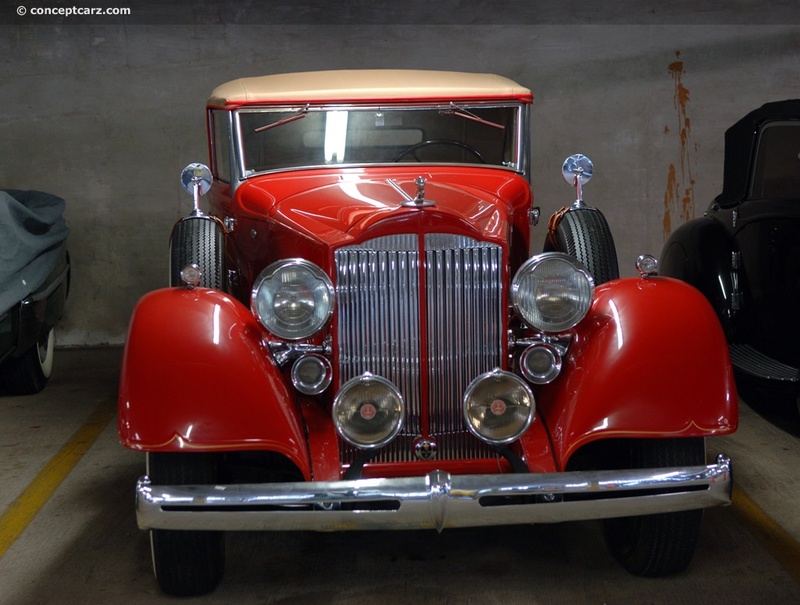 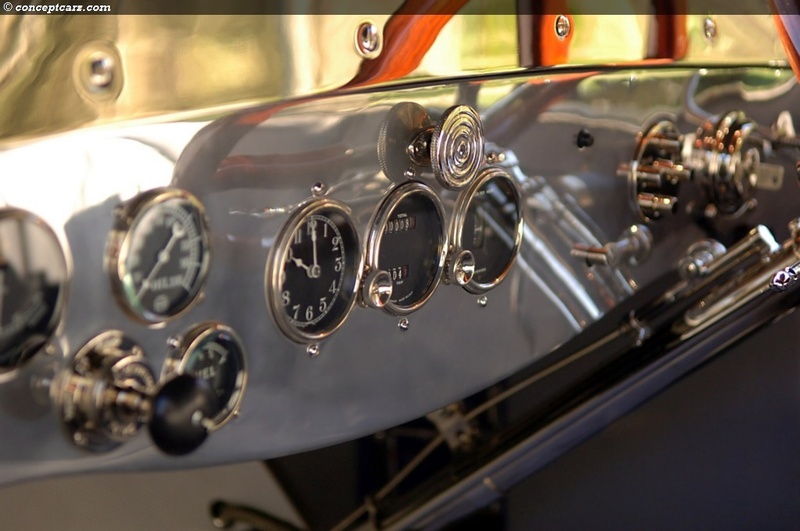 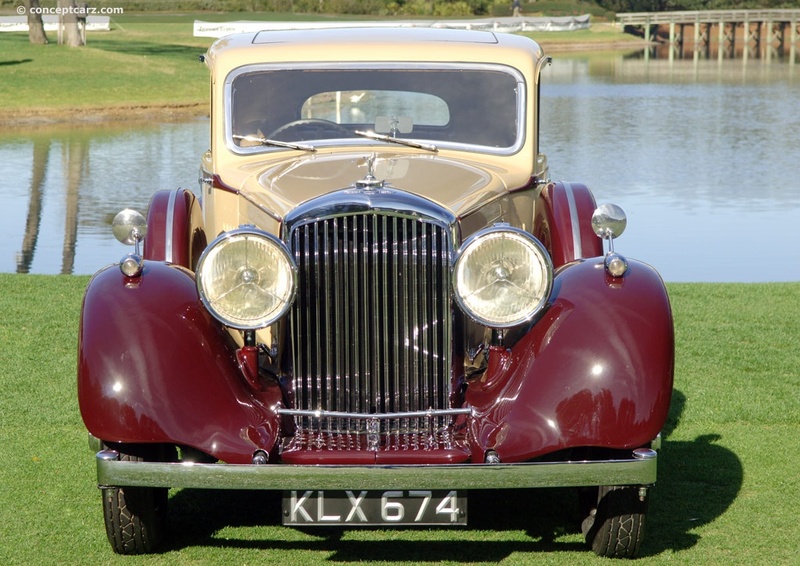 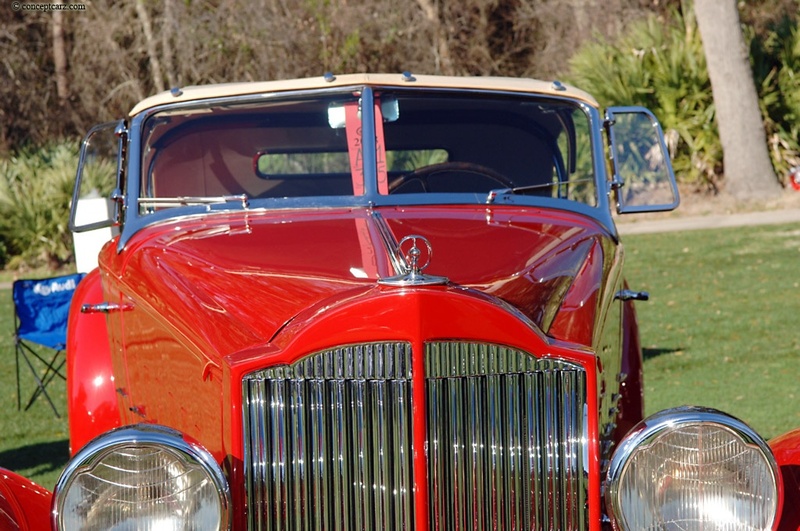 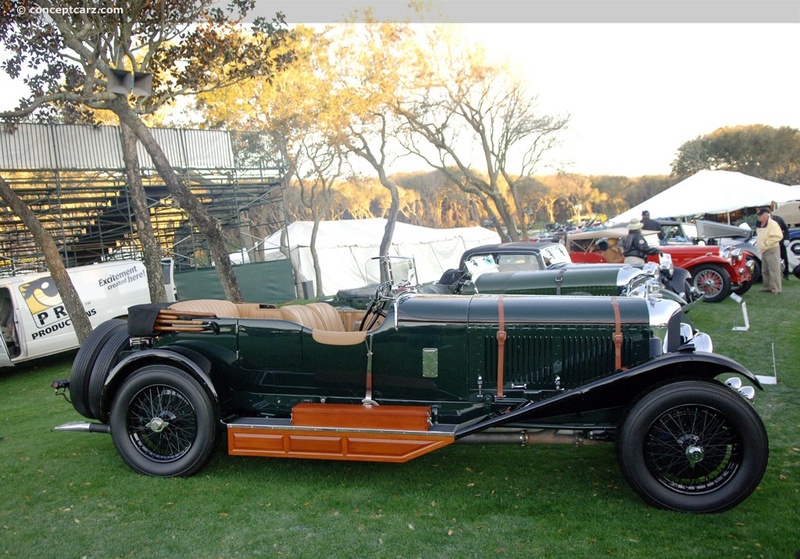 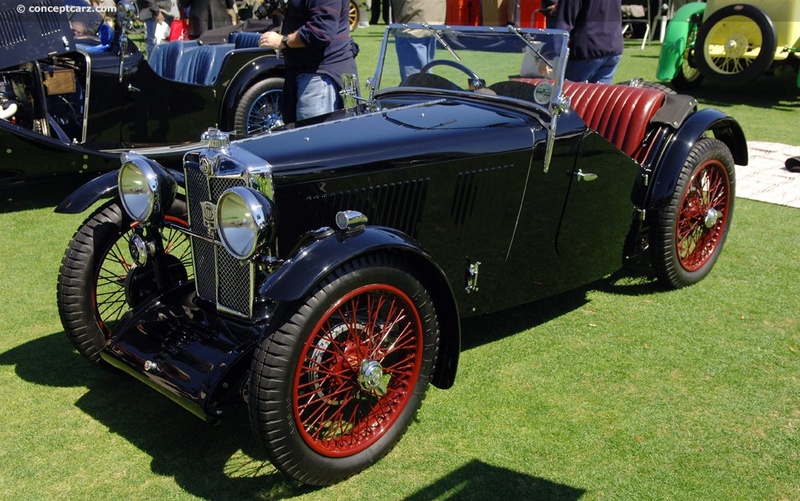 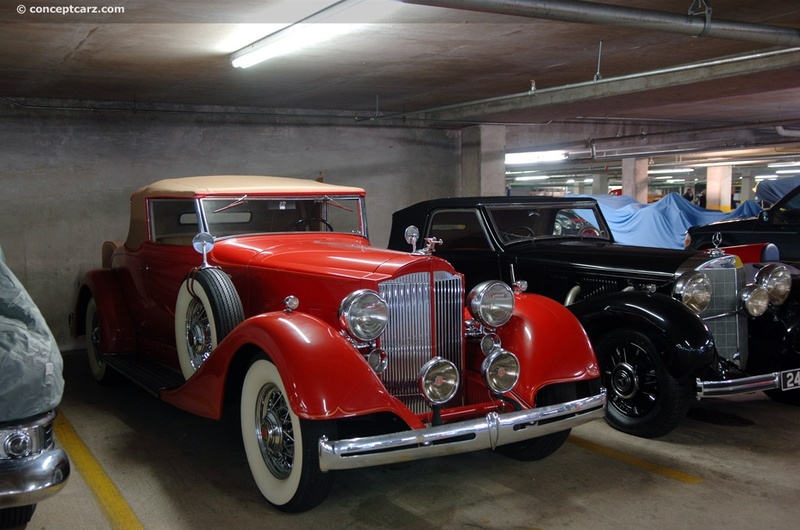 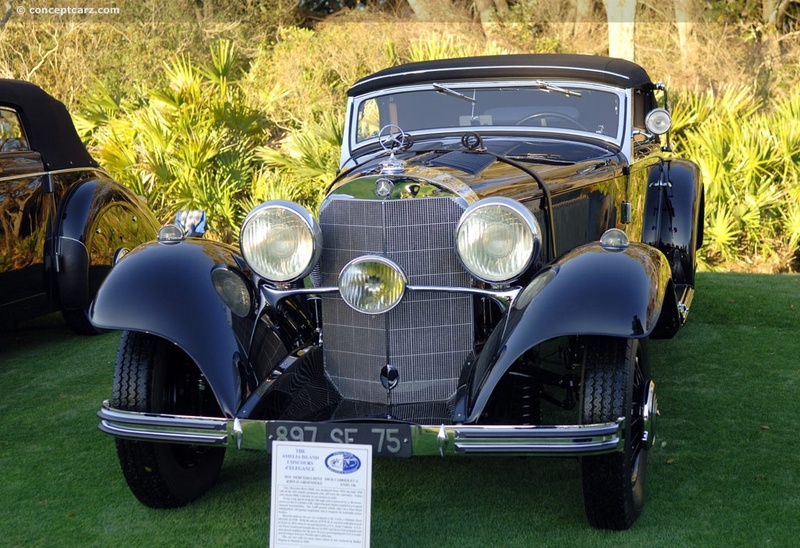 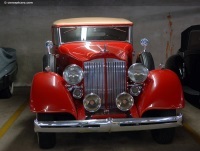 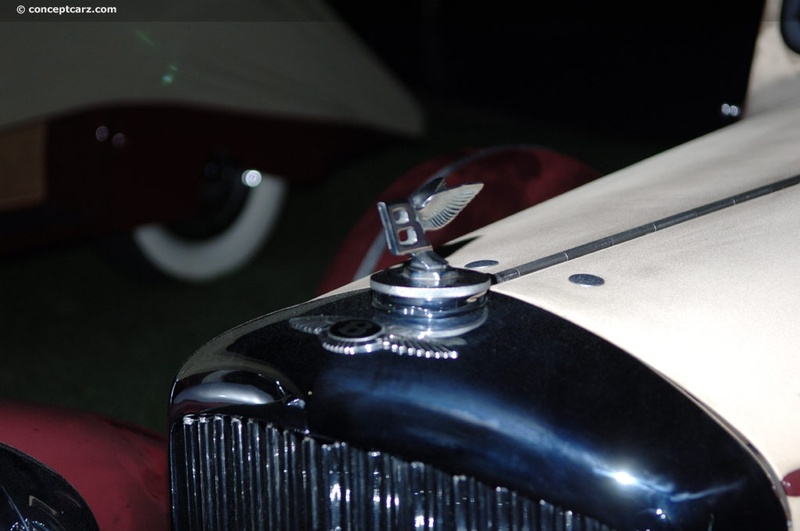 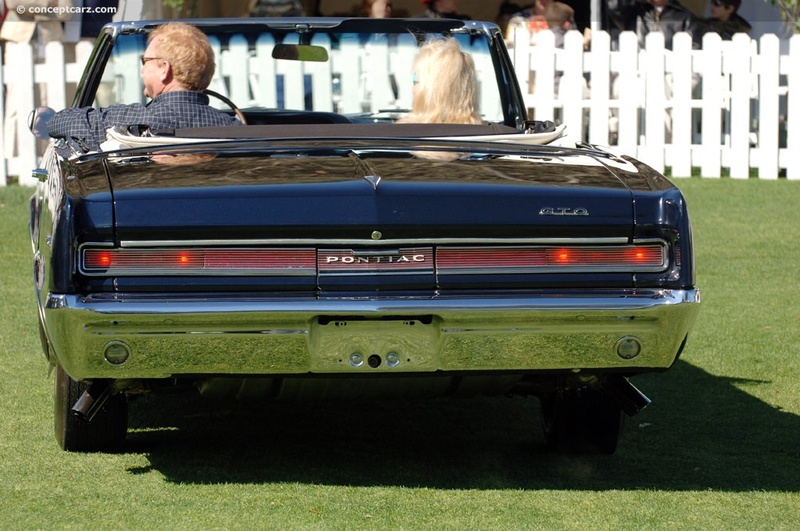 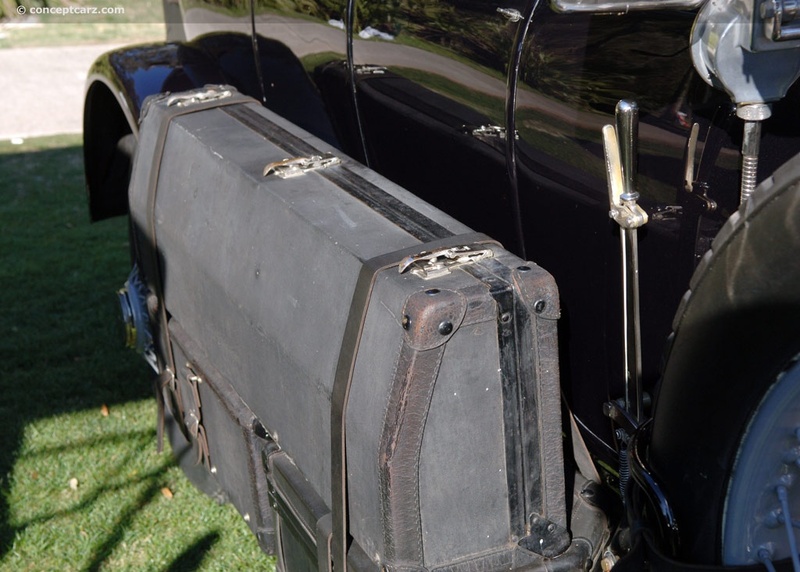 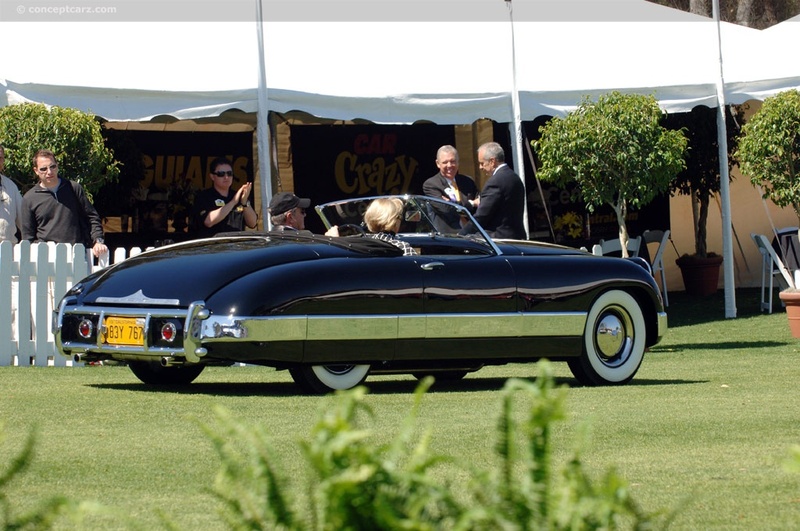 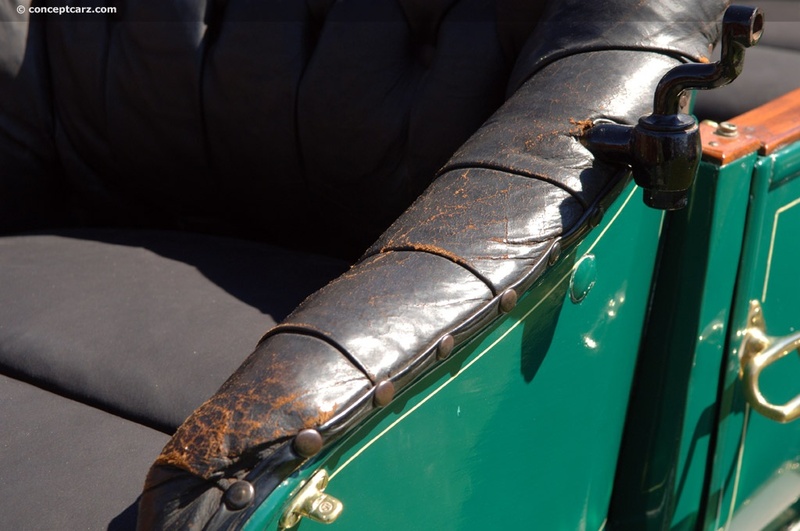 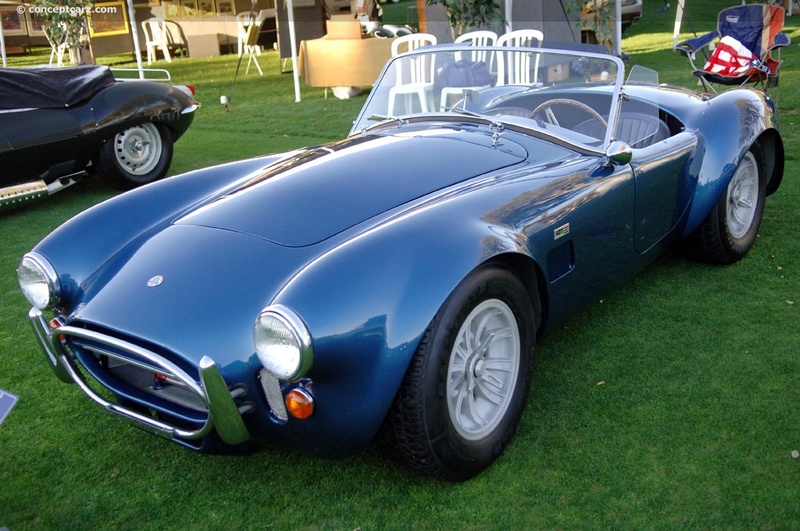 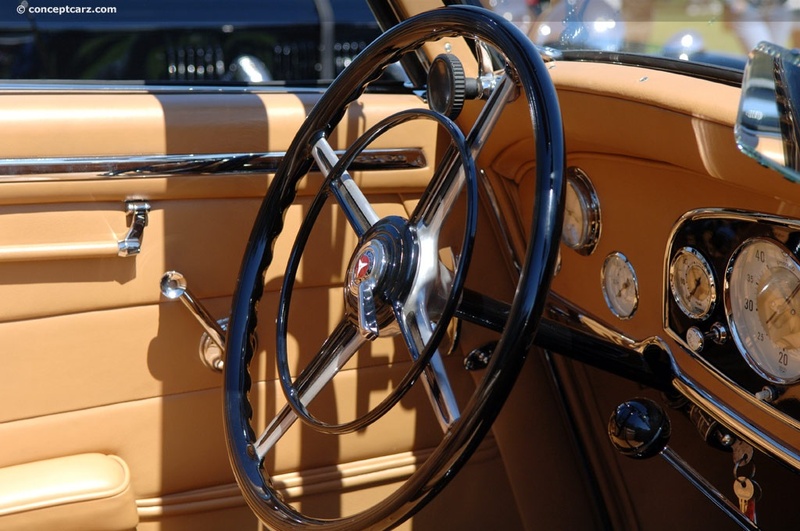 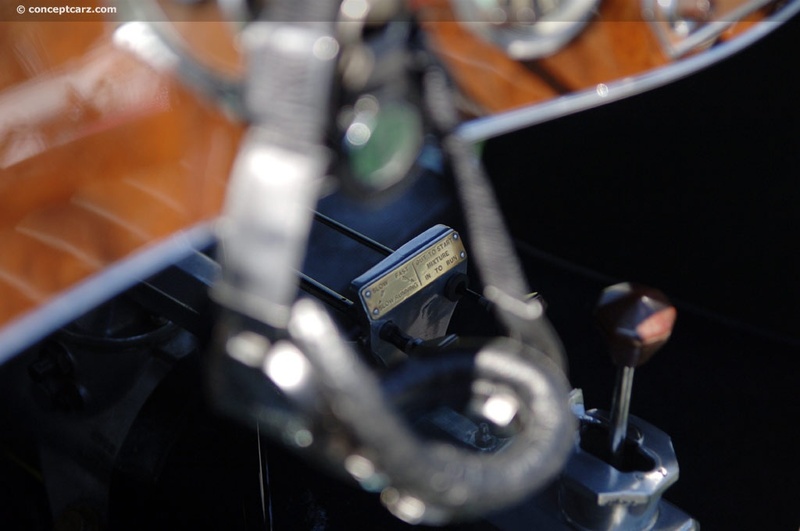 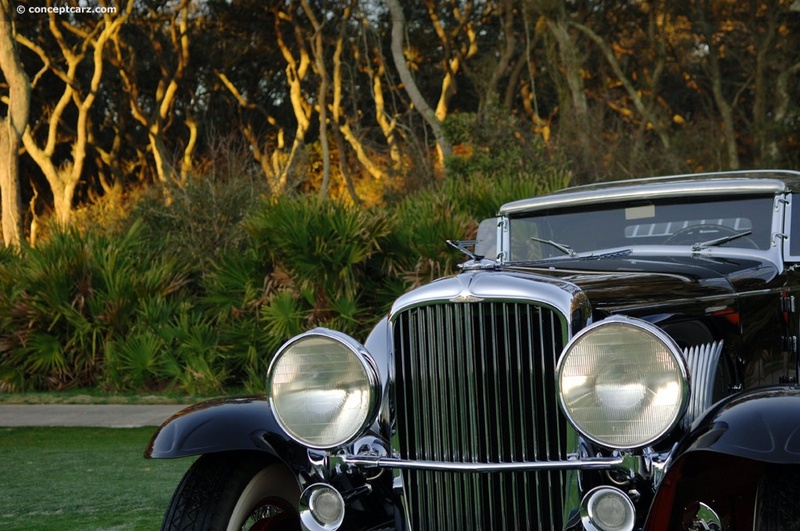 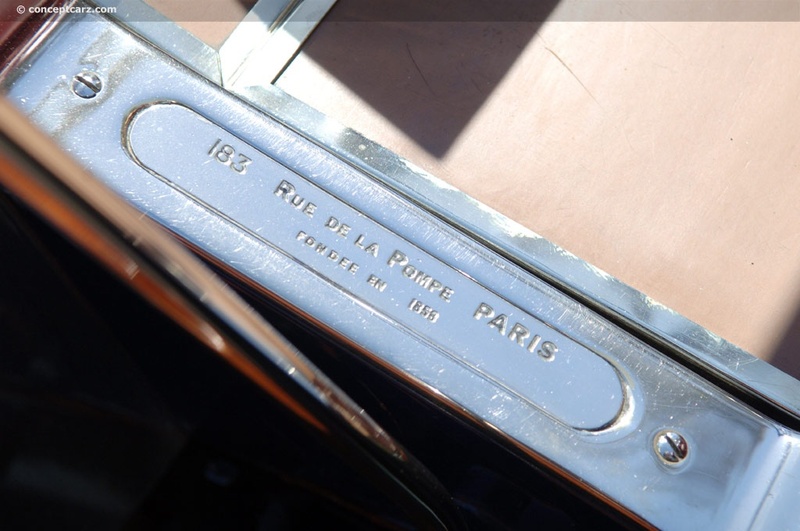 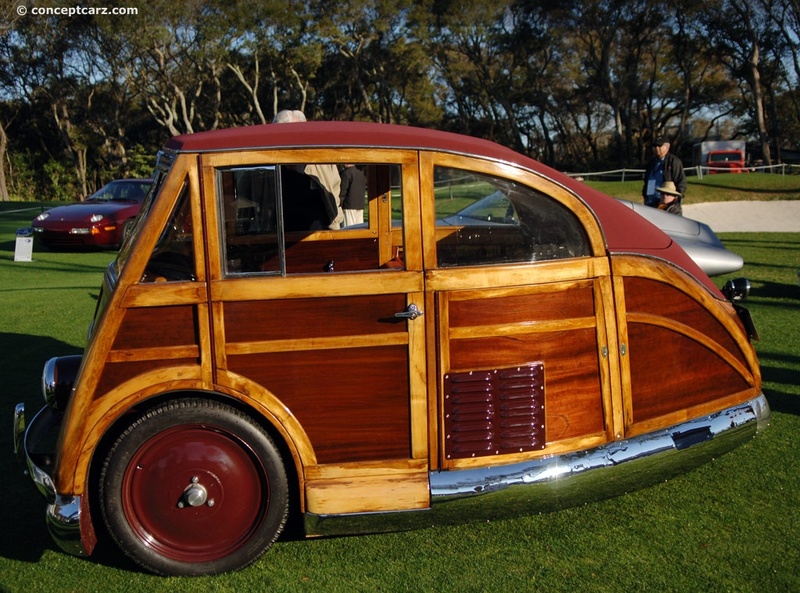 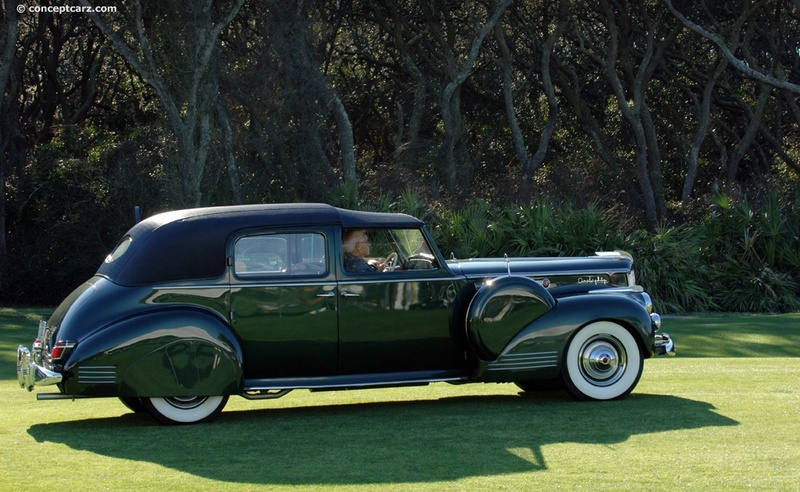 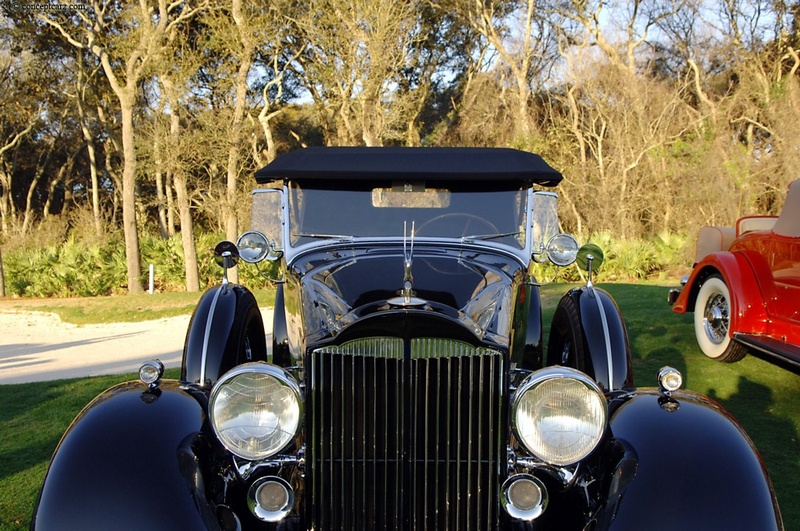 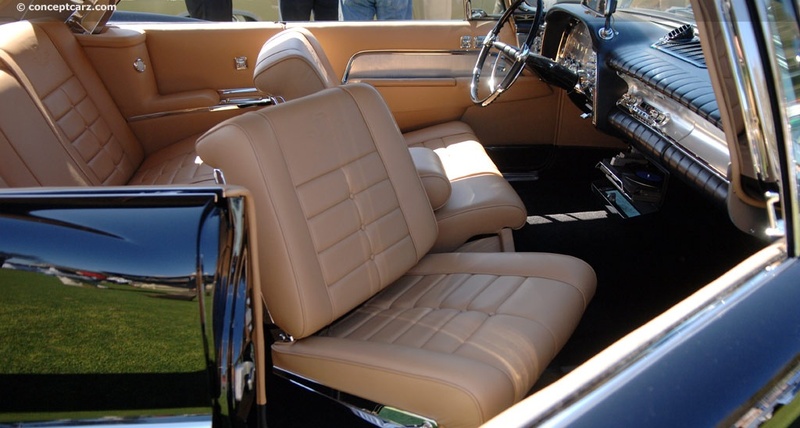 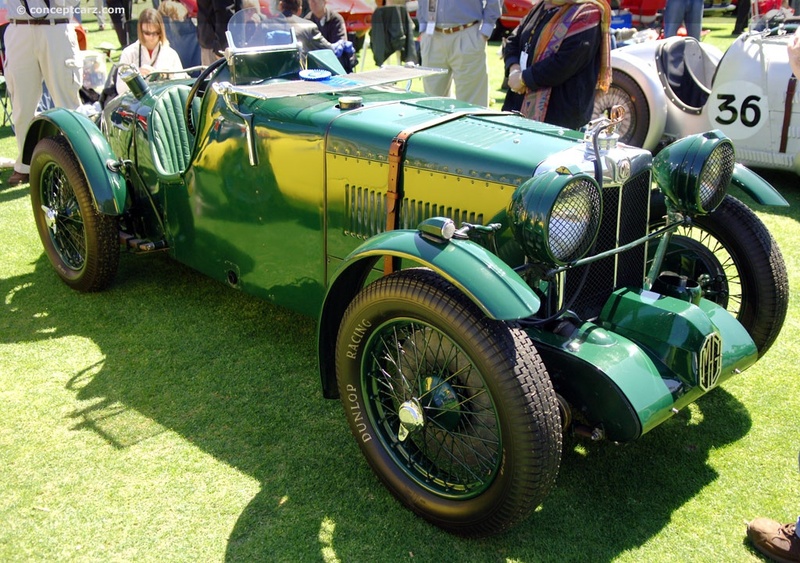 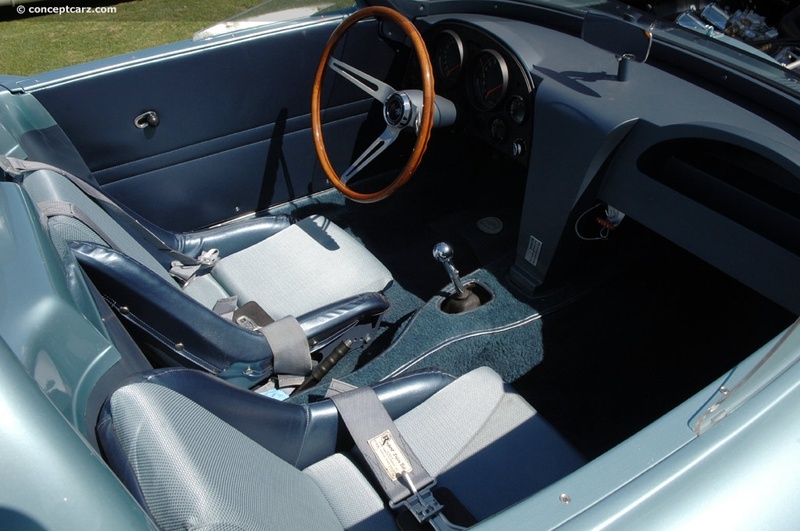 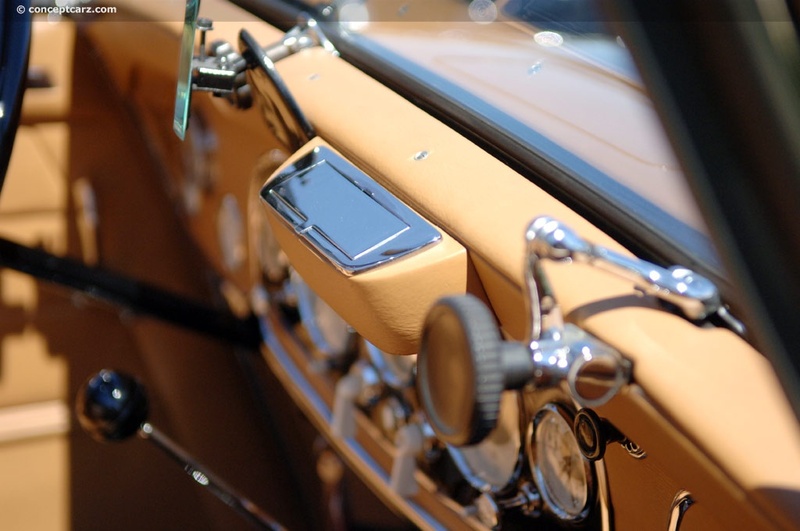 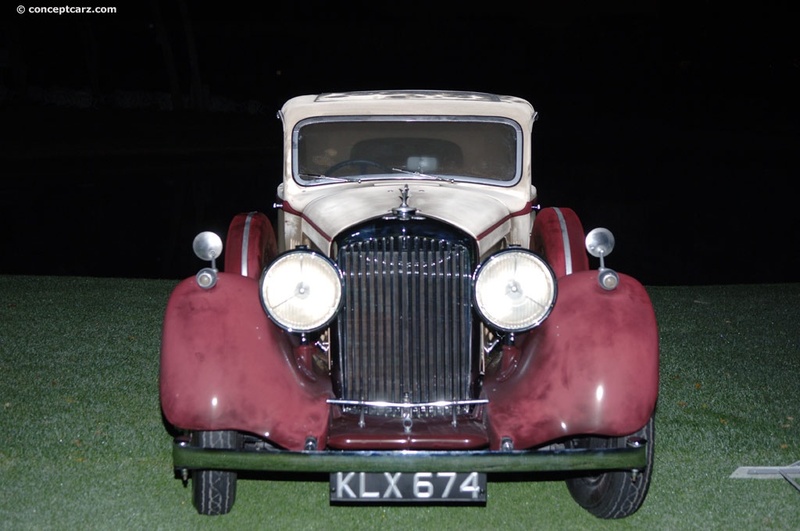 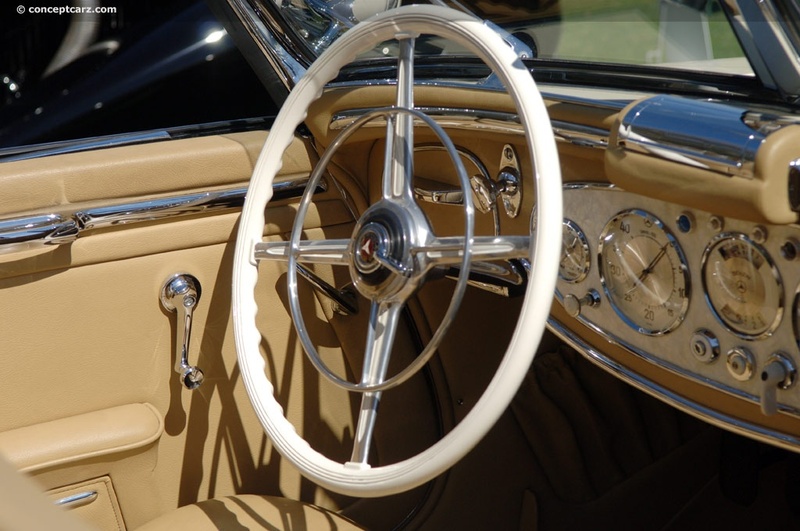 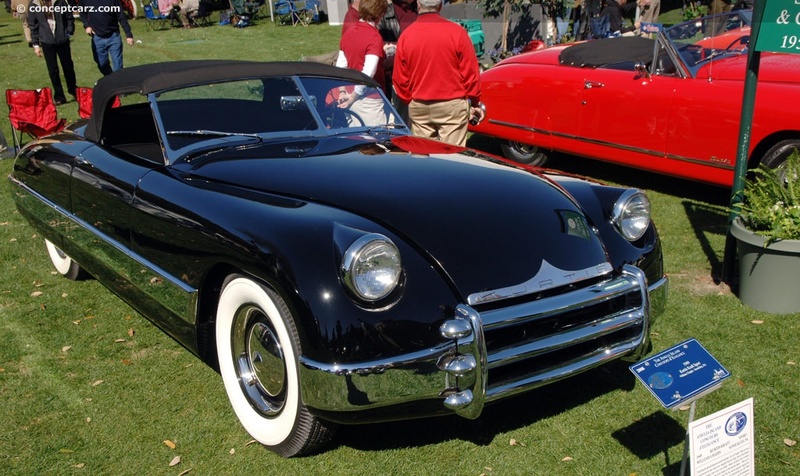 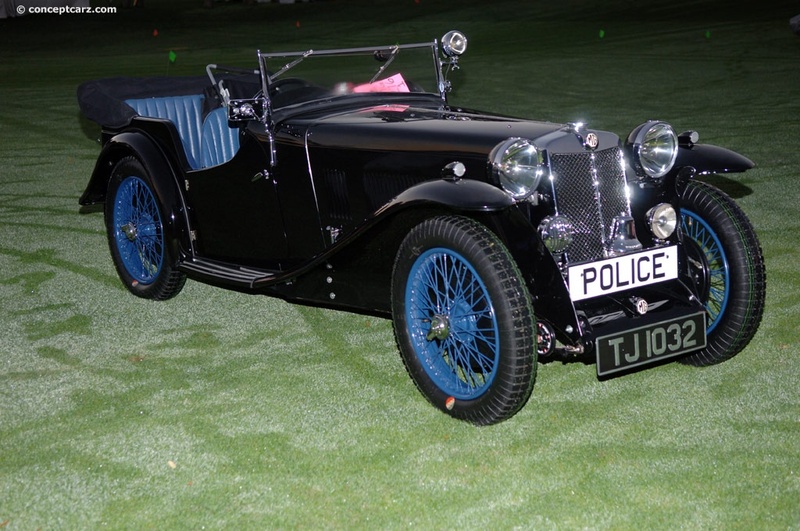 The car was originally owned by actor Clark Gable and currently in the possession of Sam and Emily Mann. 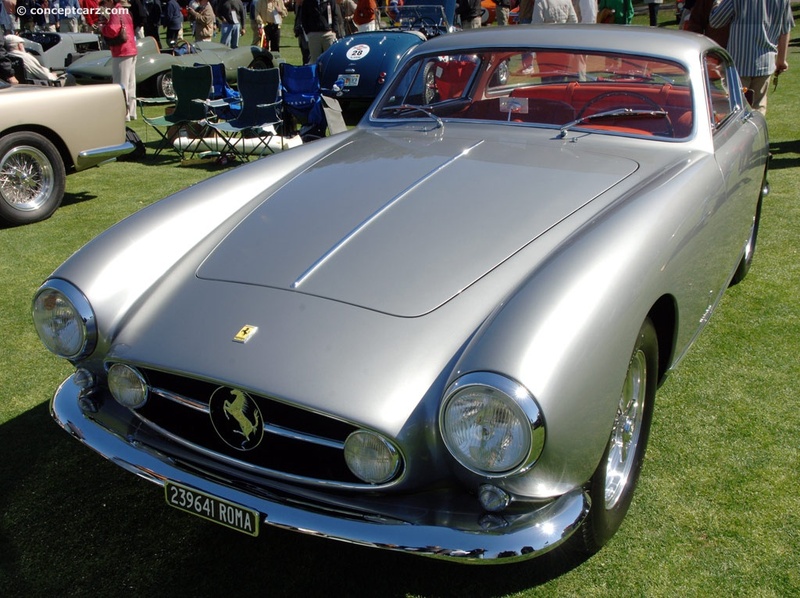 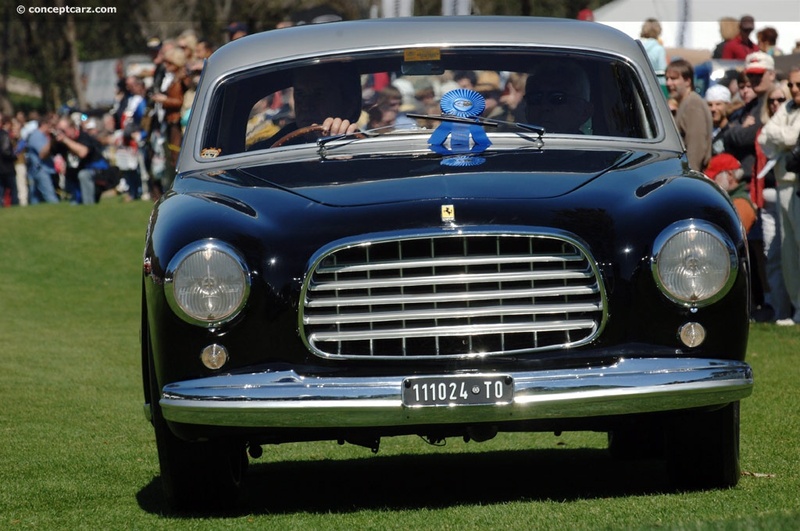 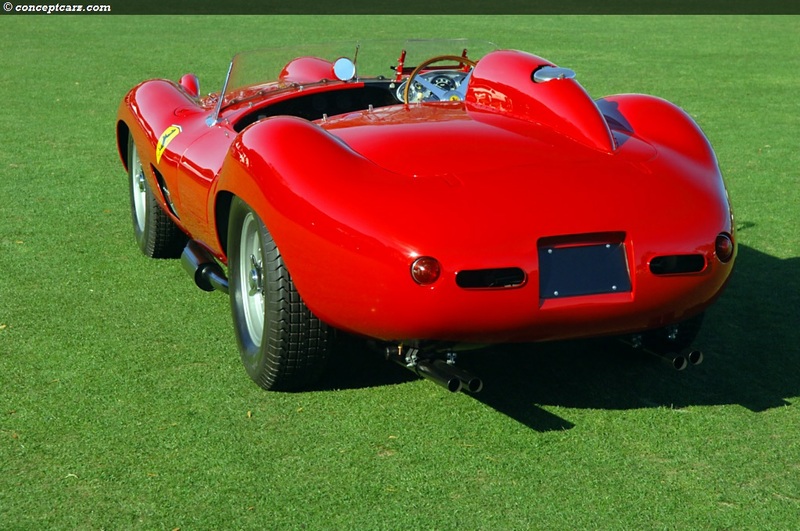 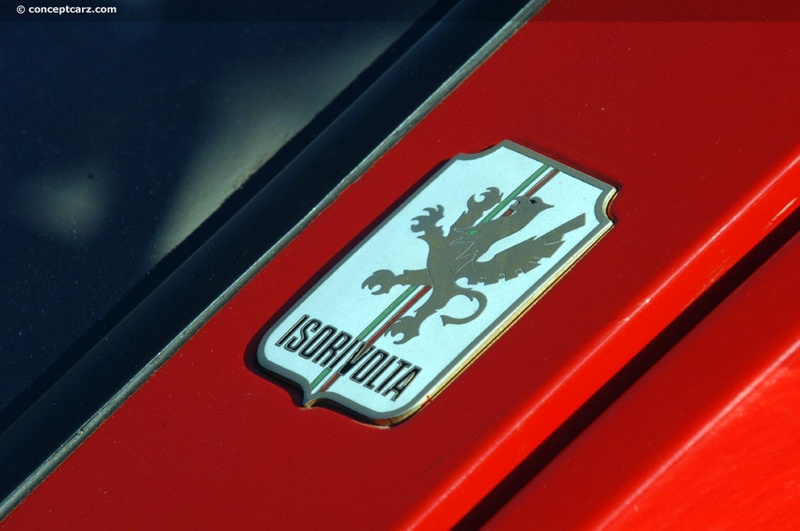 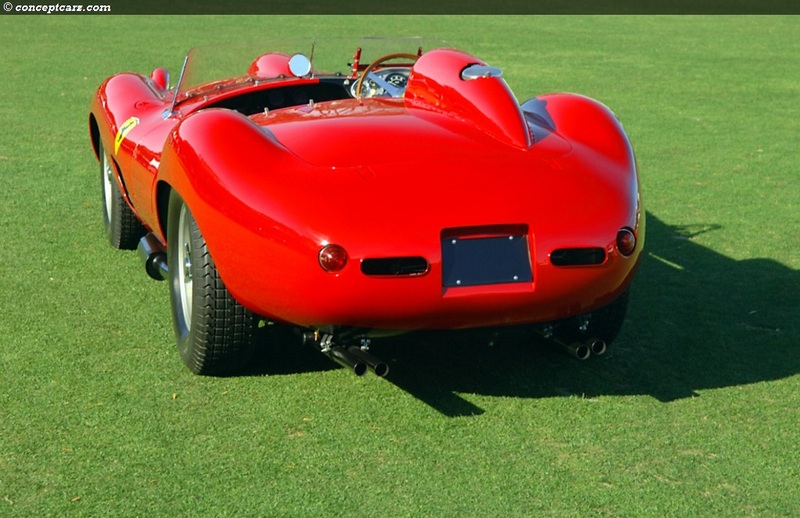 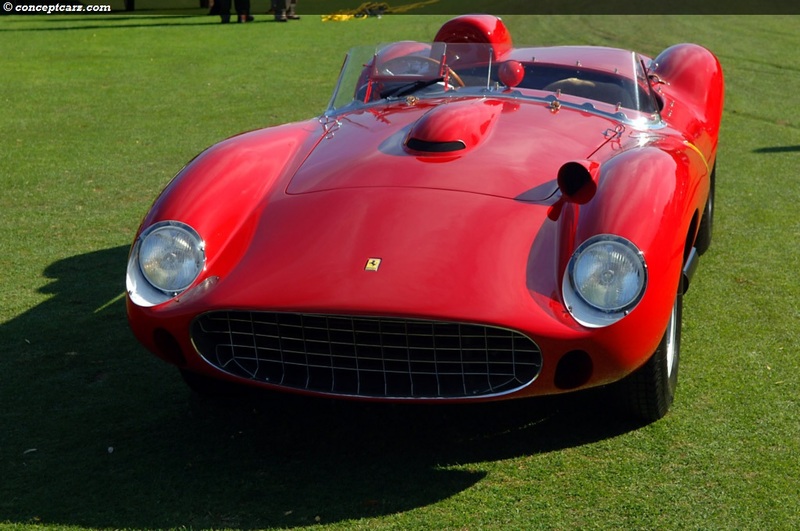 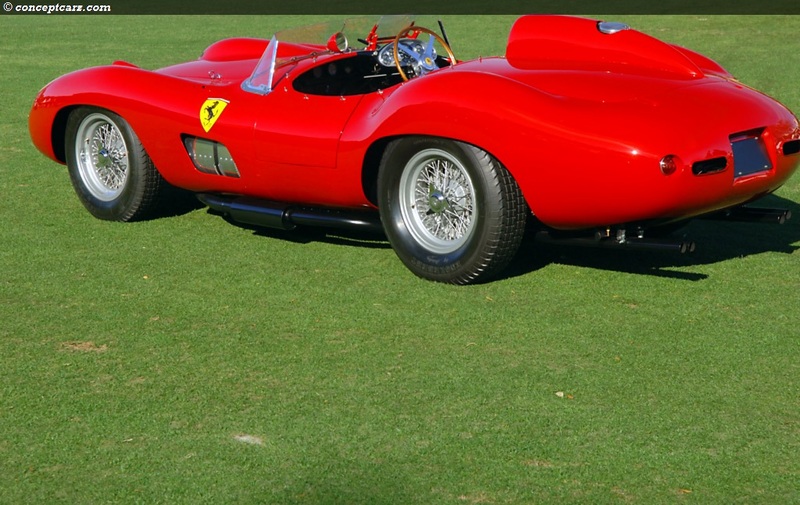 The other coveted award, the 'Concours de Sport' went to a very deserving Ferrari 335 Sport owned by Scuderia N.E. 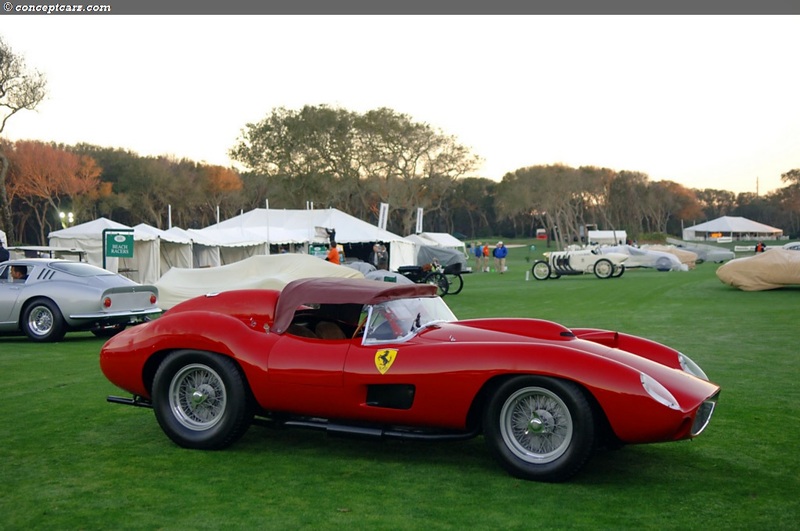 This marks the third year in a row that a Ferrari has won this award. 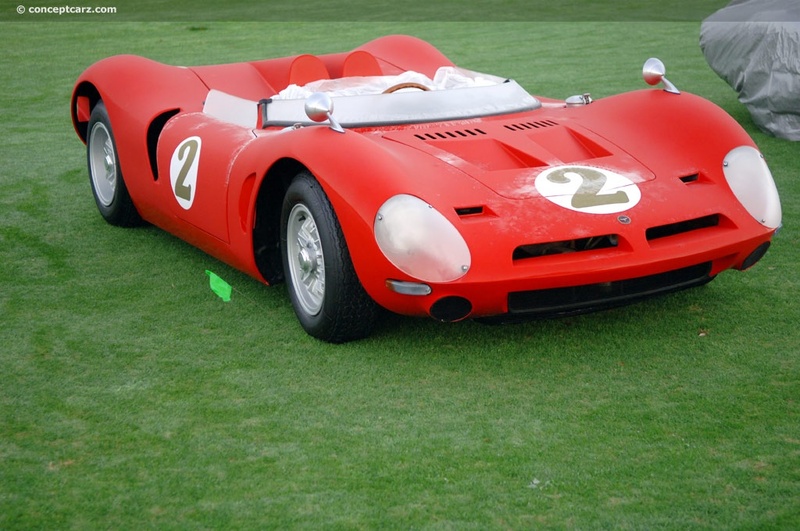 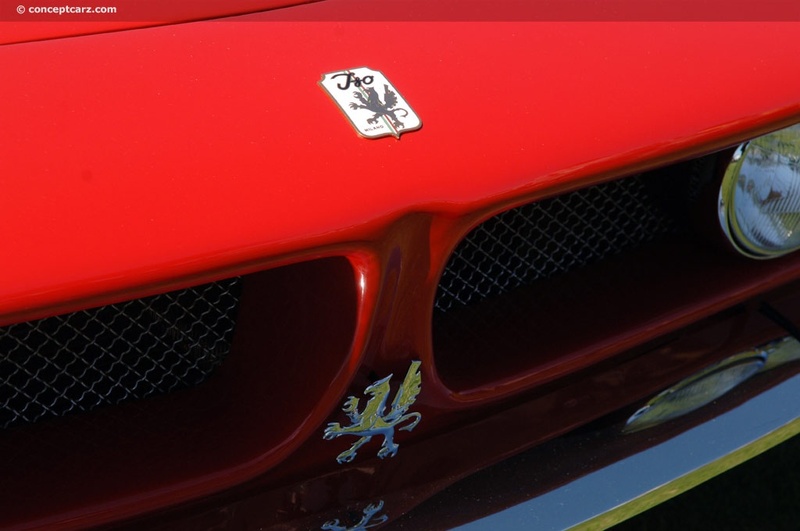 The racing history of the 335 Ferrari includes the 1975 Mille Miglia, 1000km of Nurburgring, 1000km of Spa, and the 24 Hours of LeMans, to name a few. 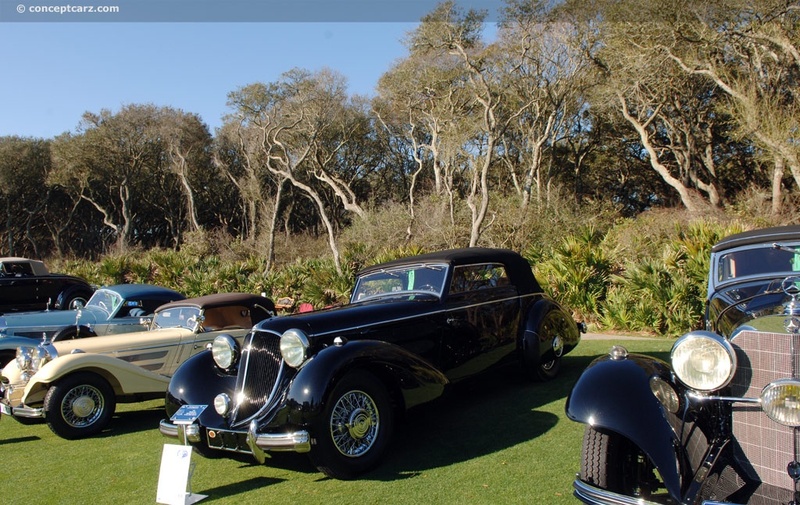 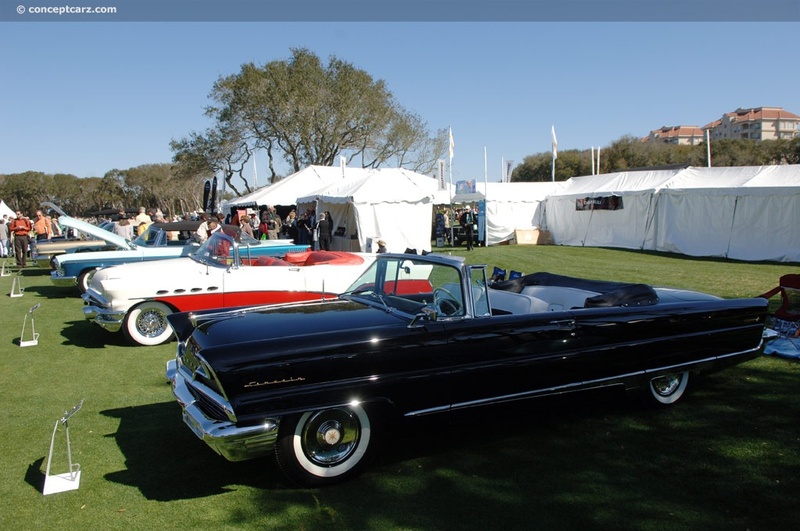 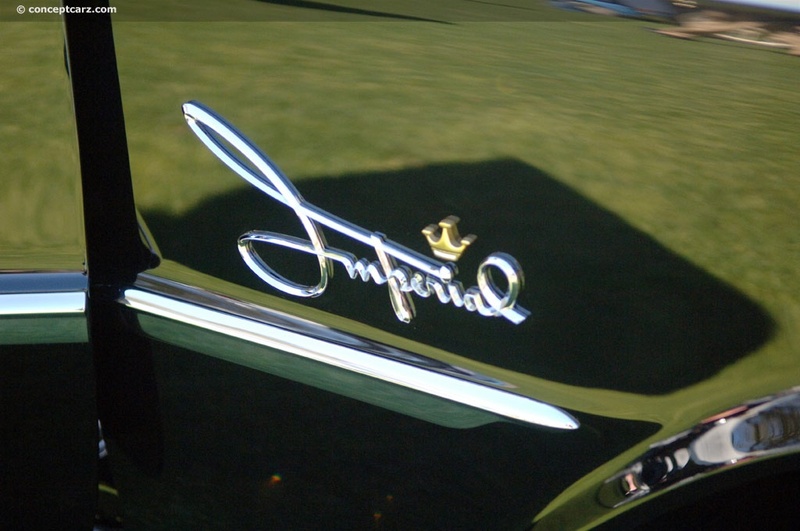 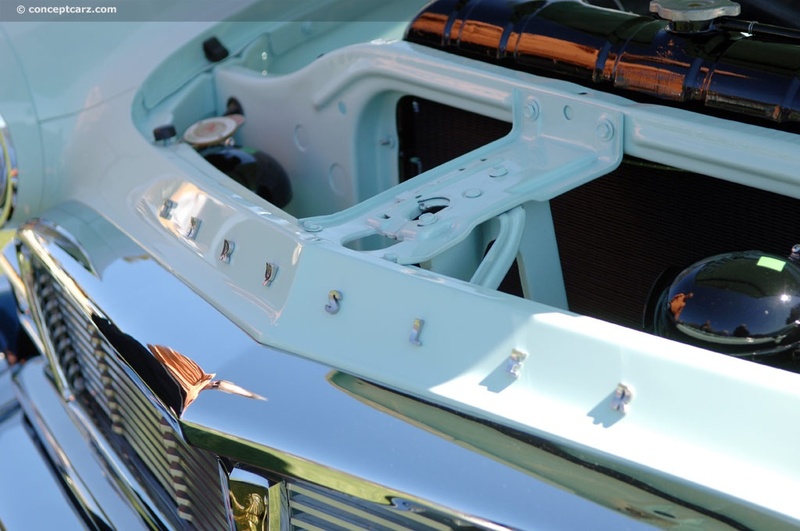 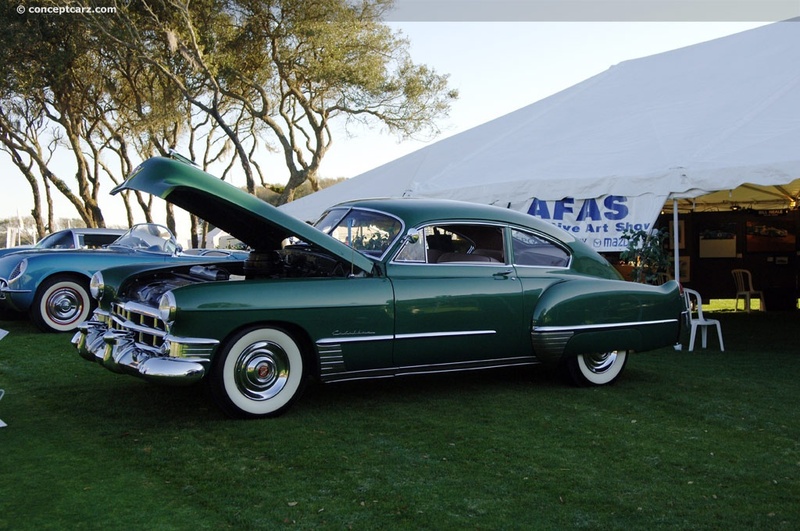 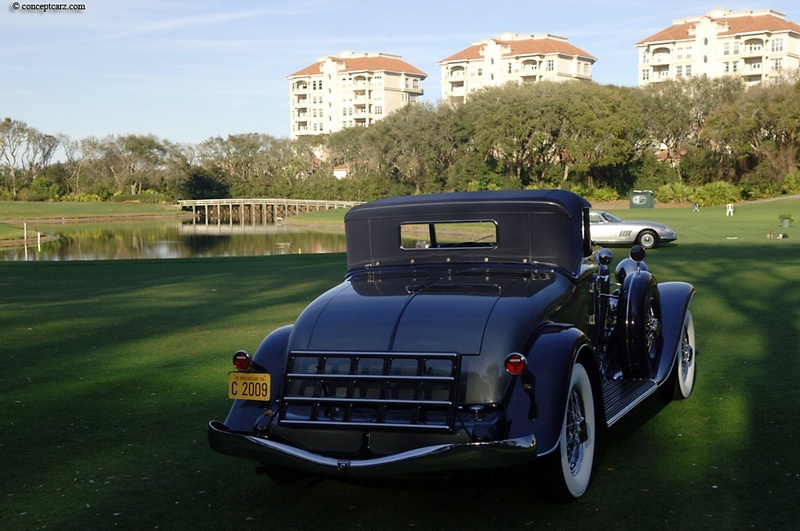 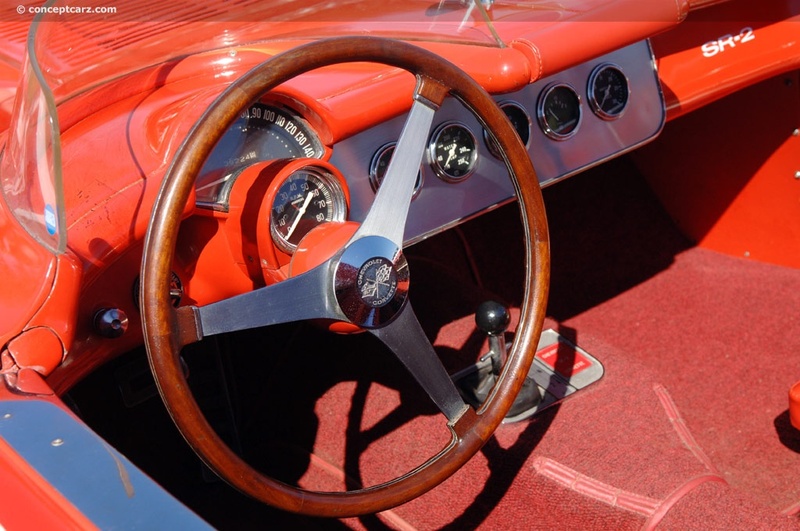 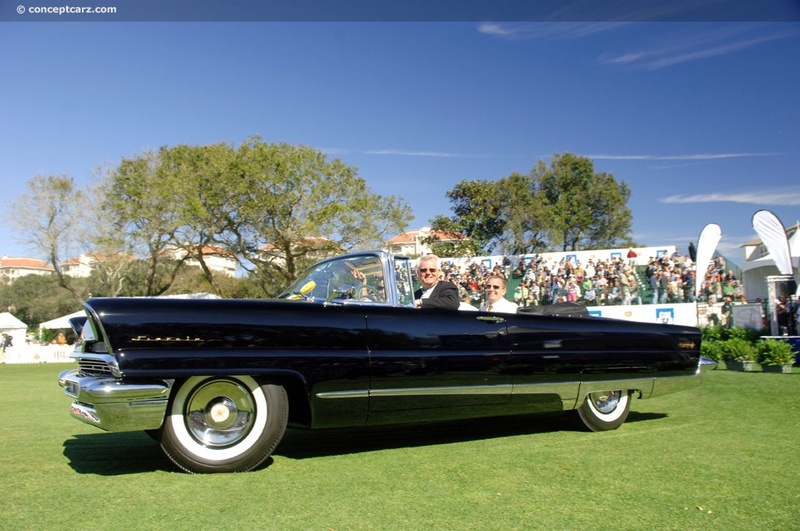 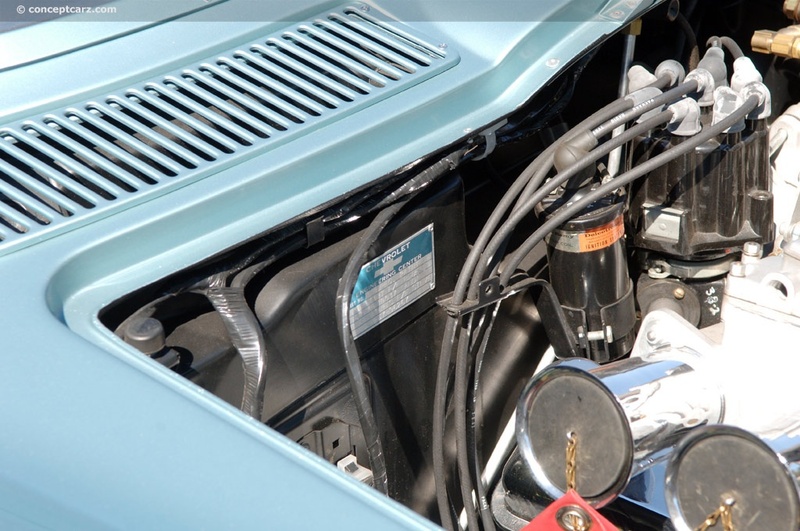 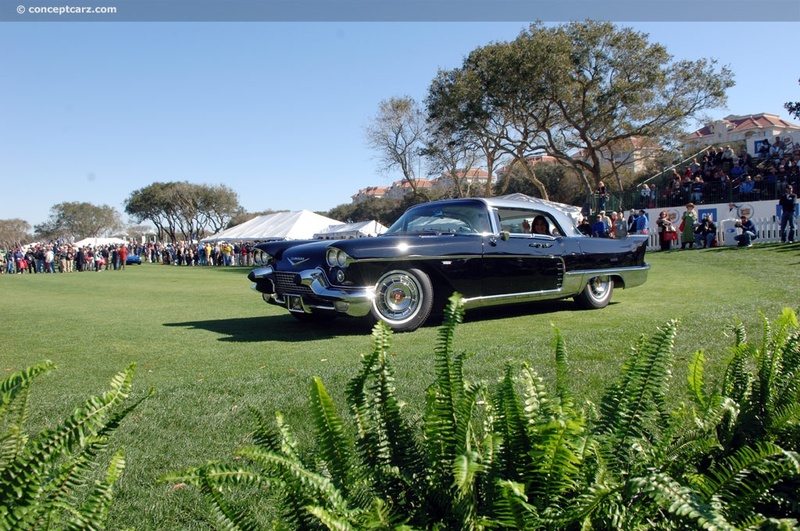 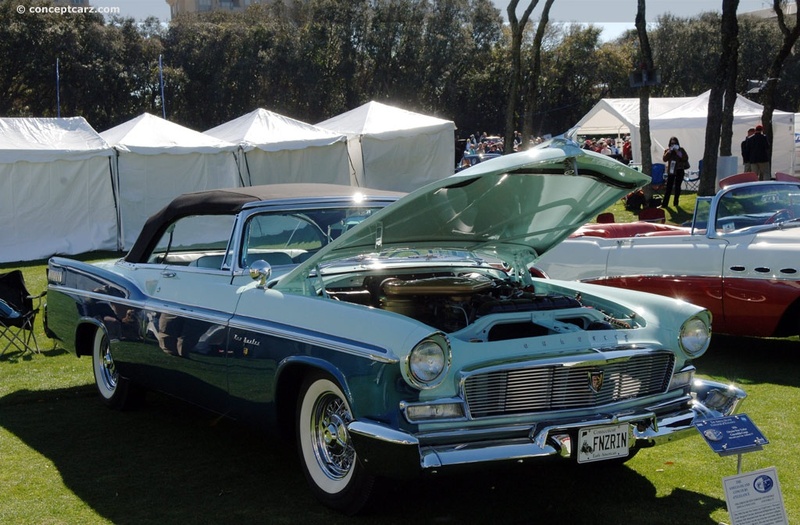 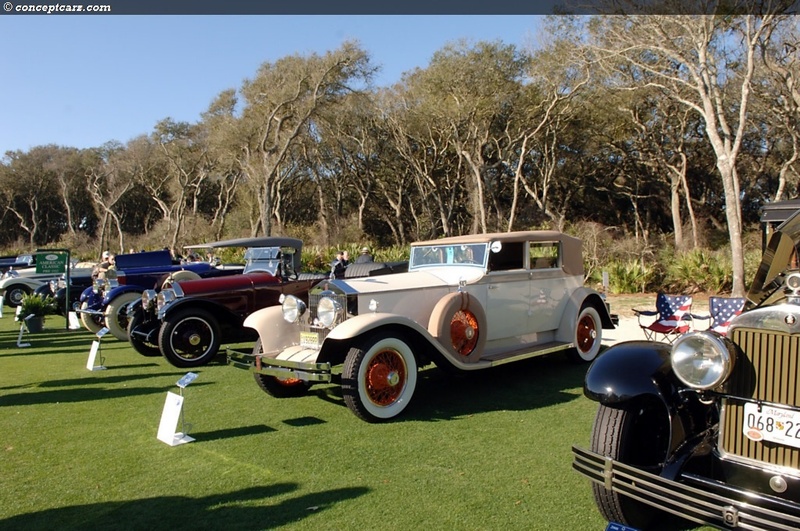 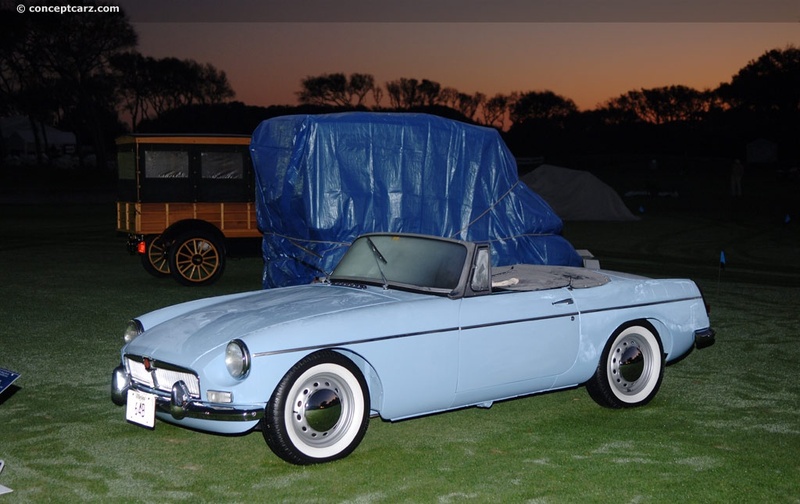 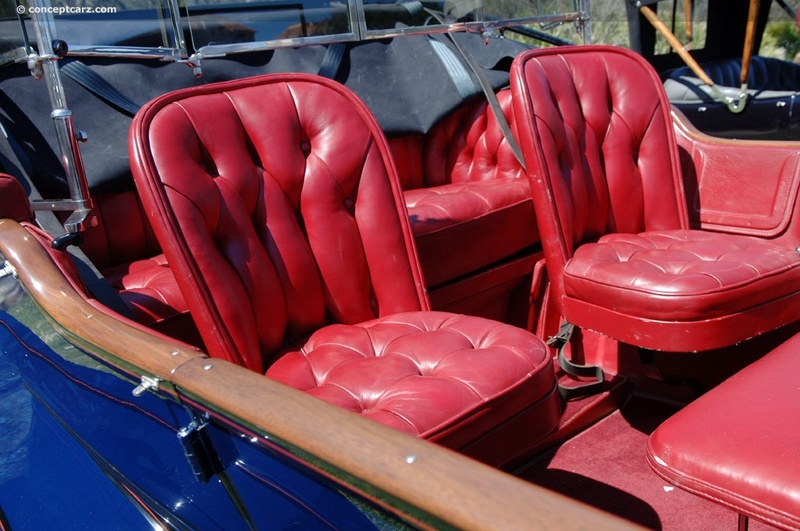 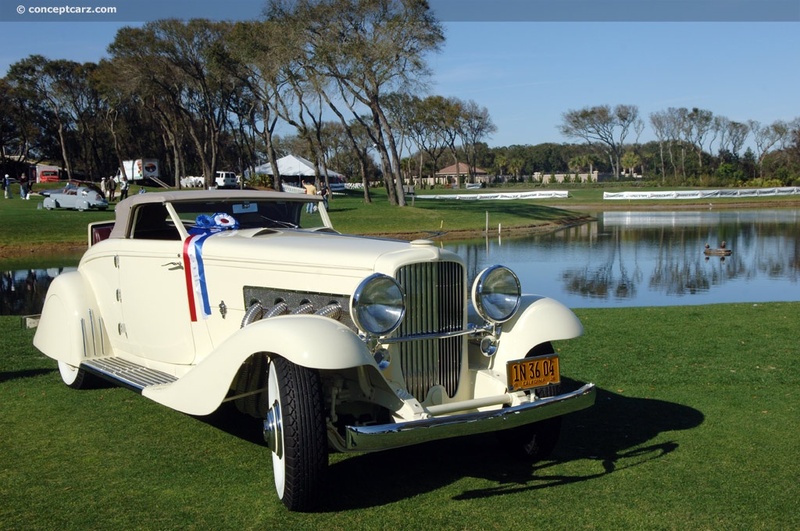 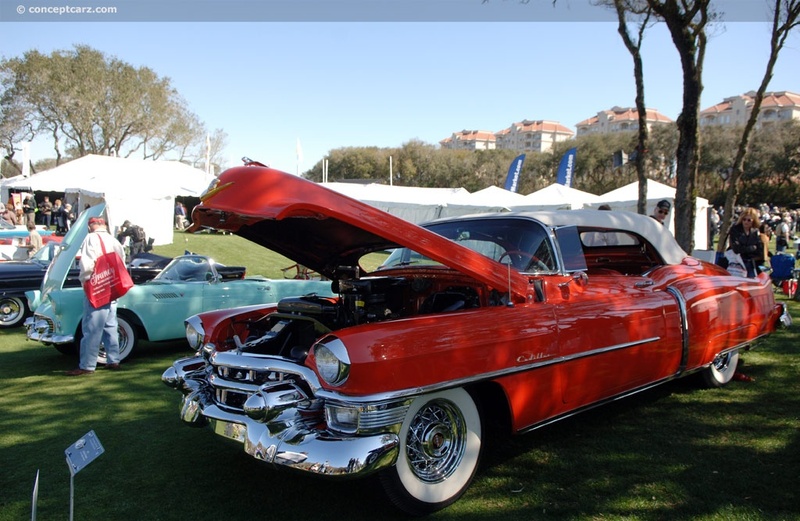 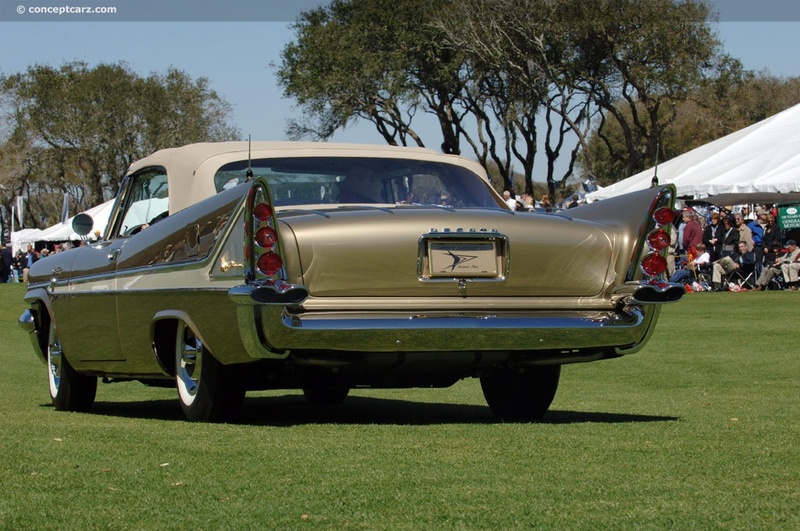 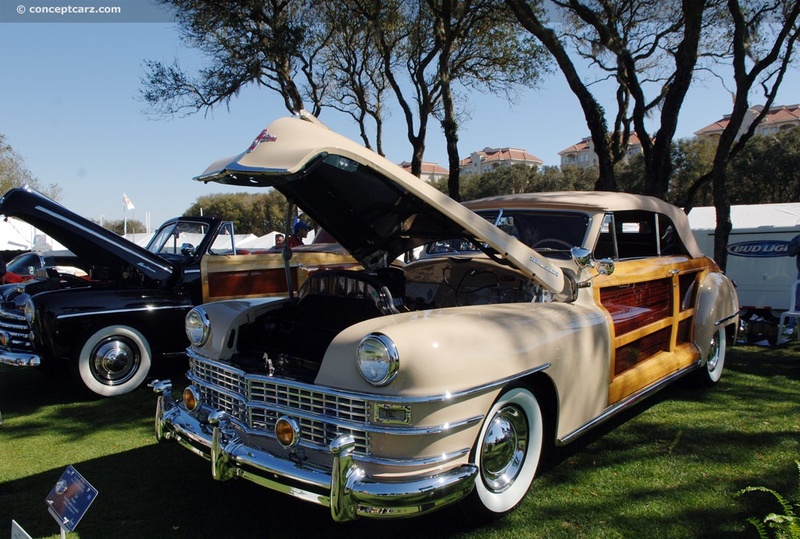 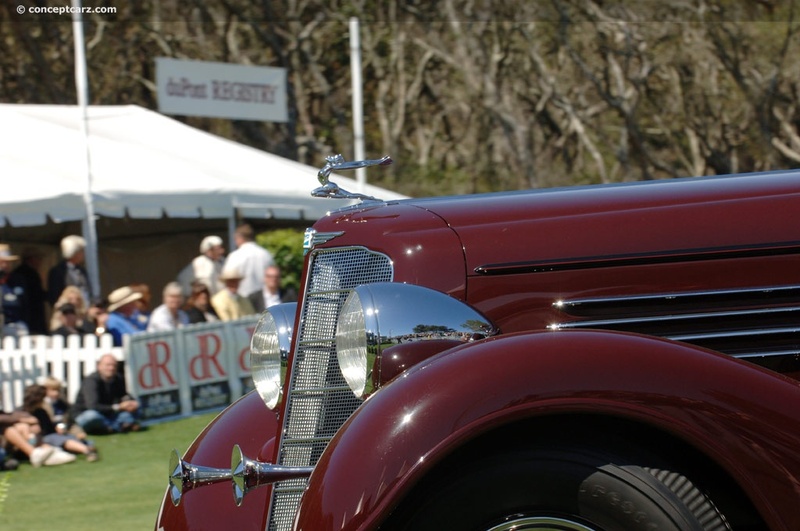 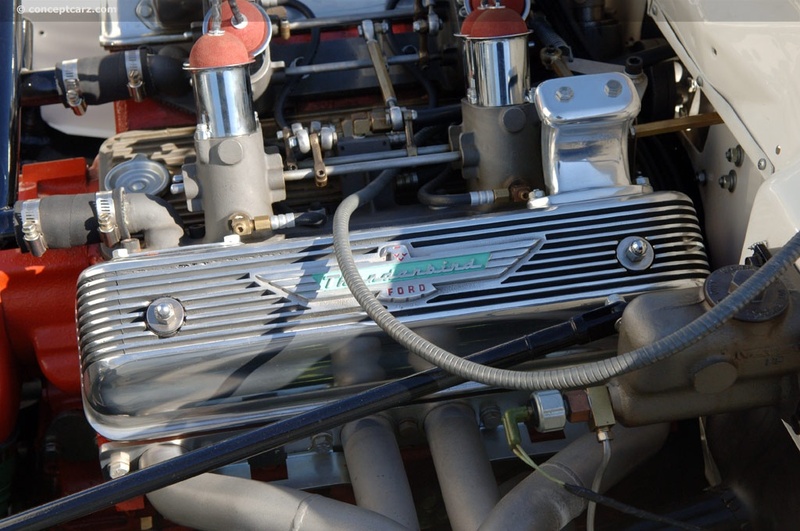 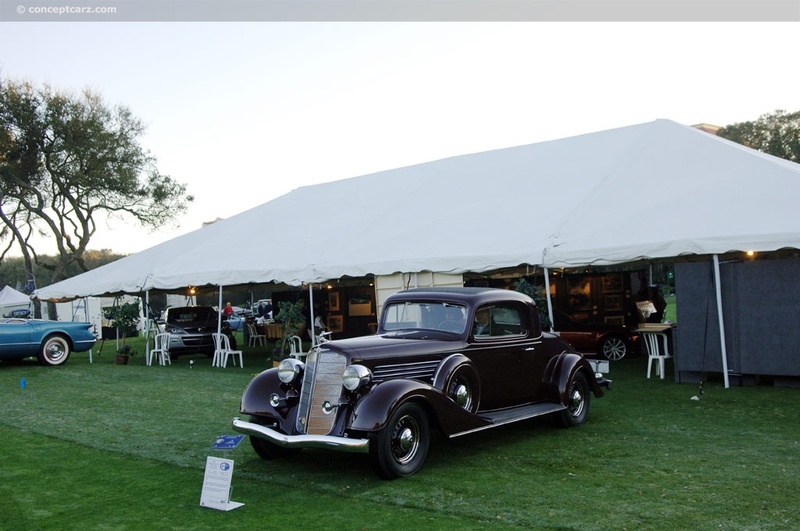 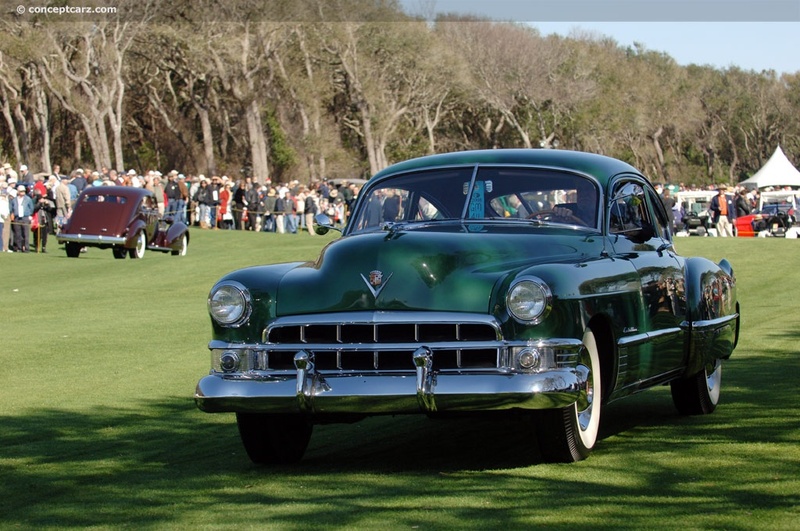 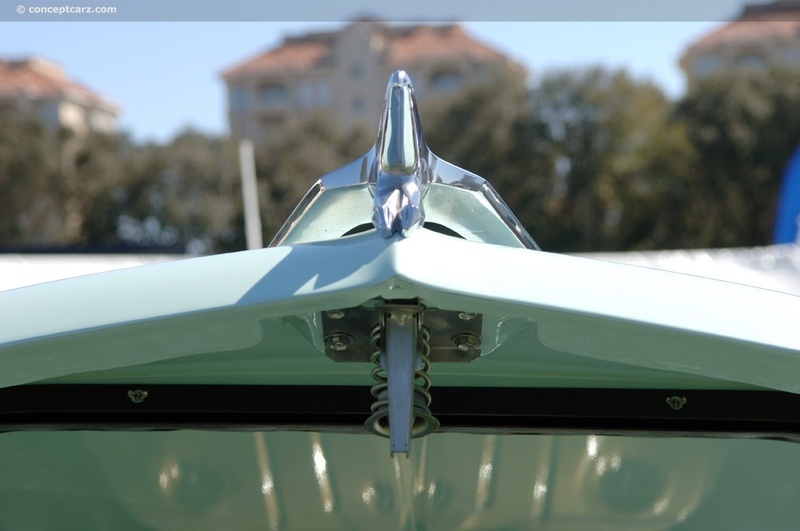 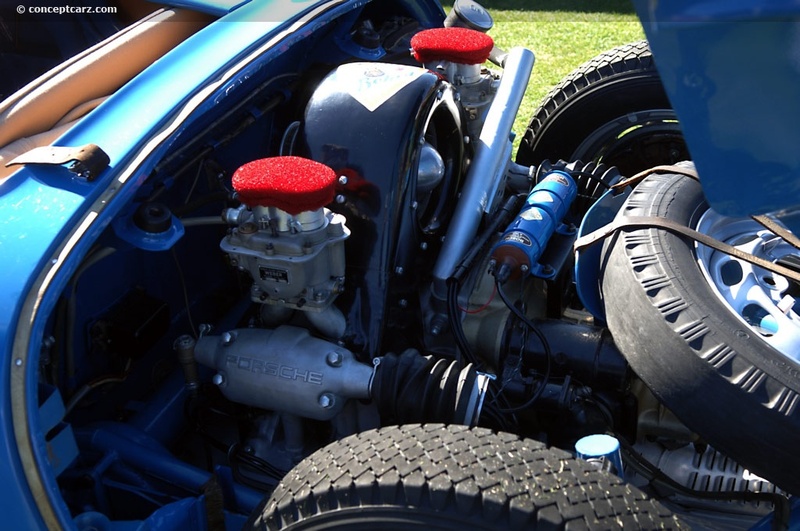 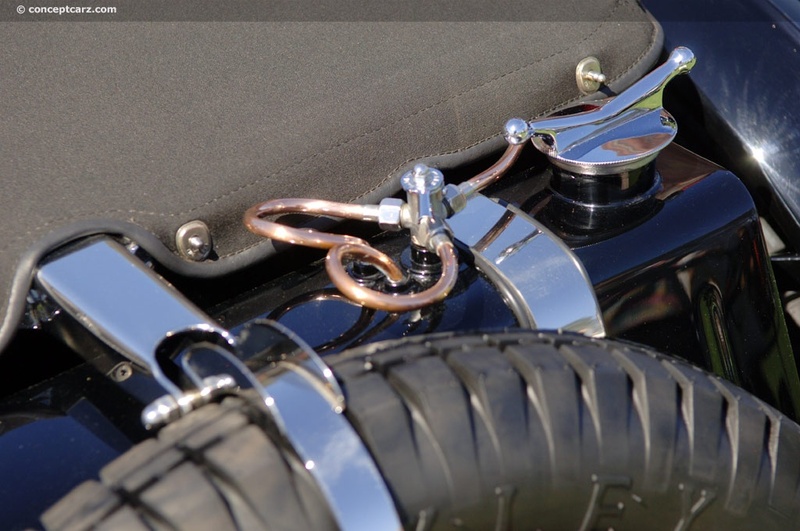 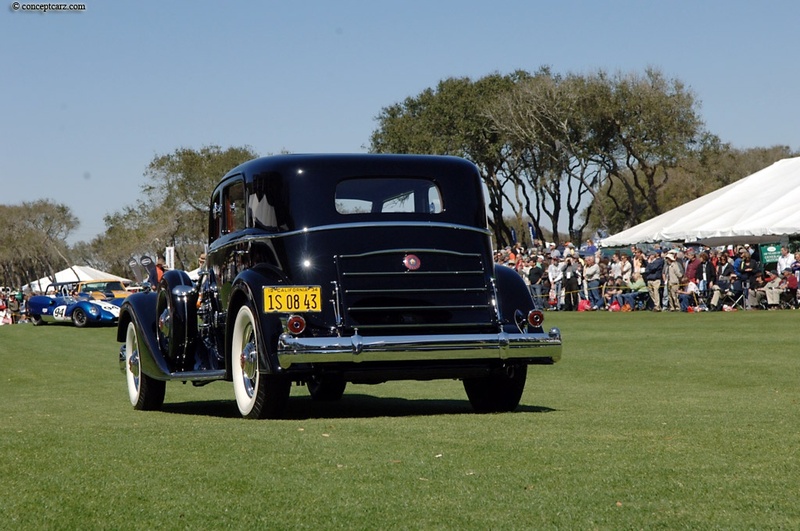 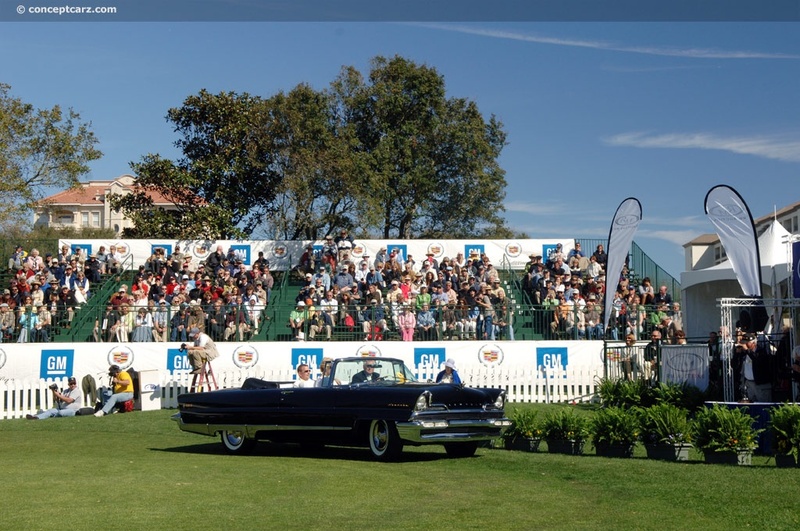 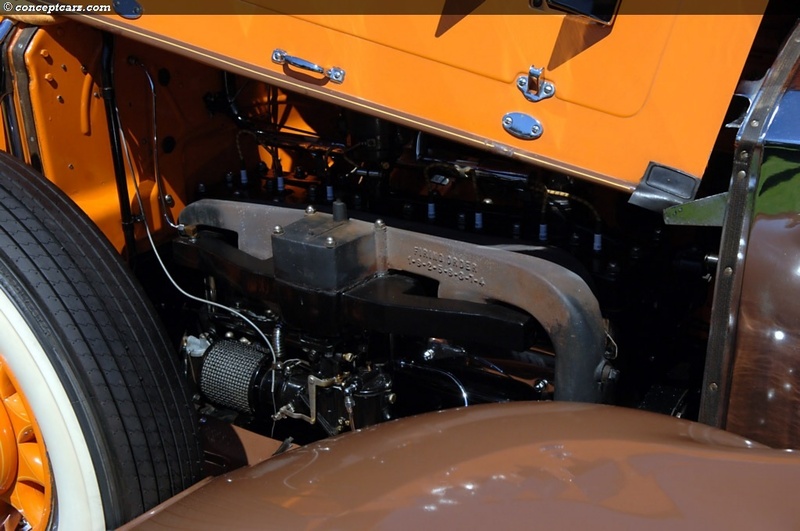 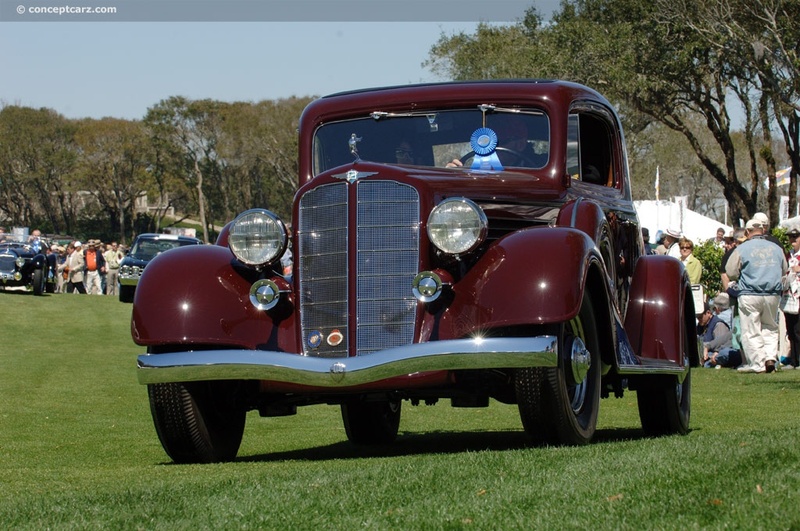 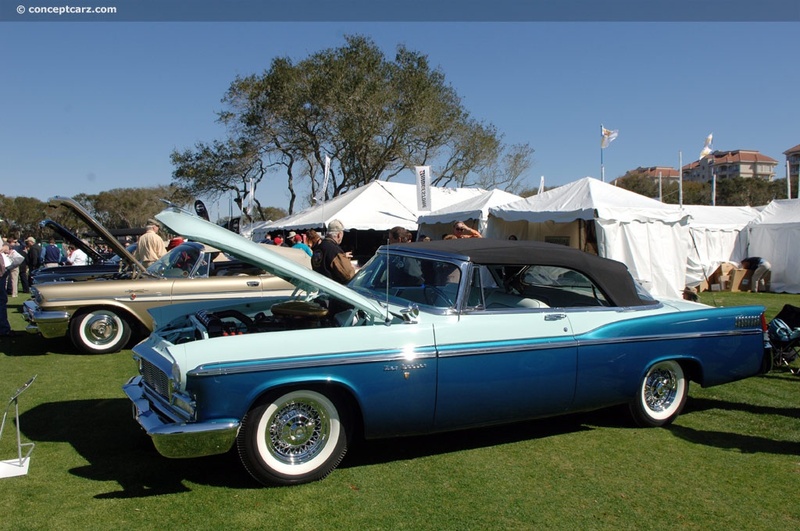 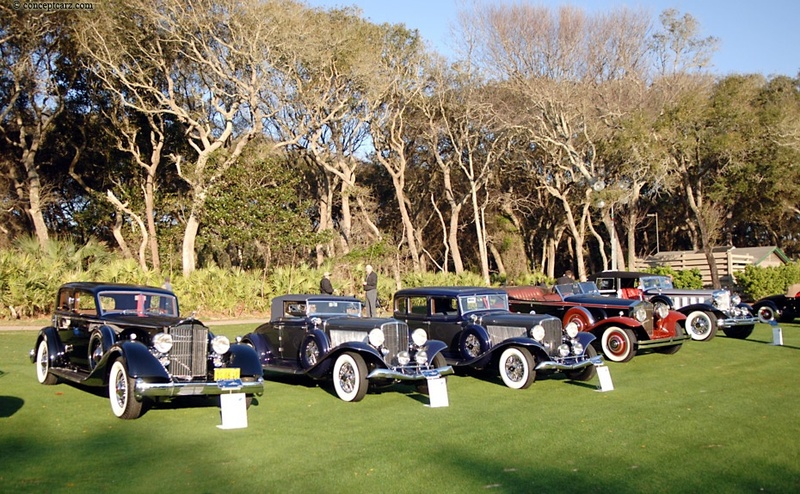 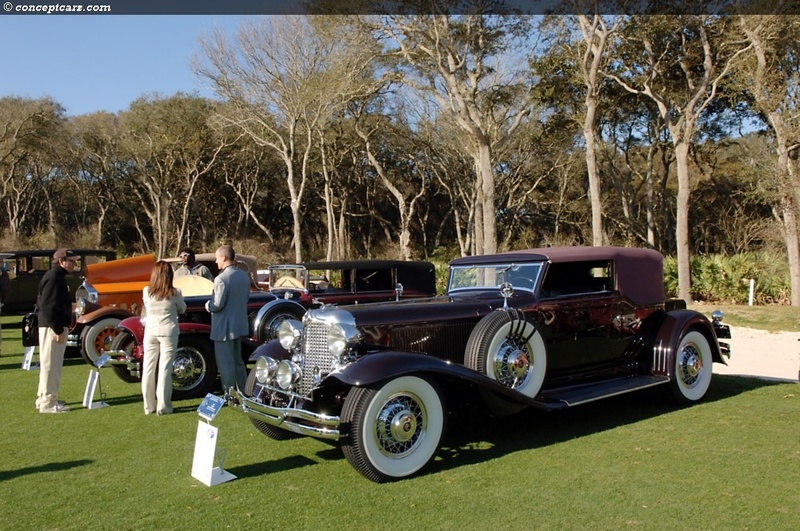 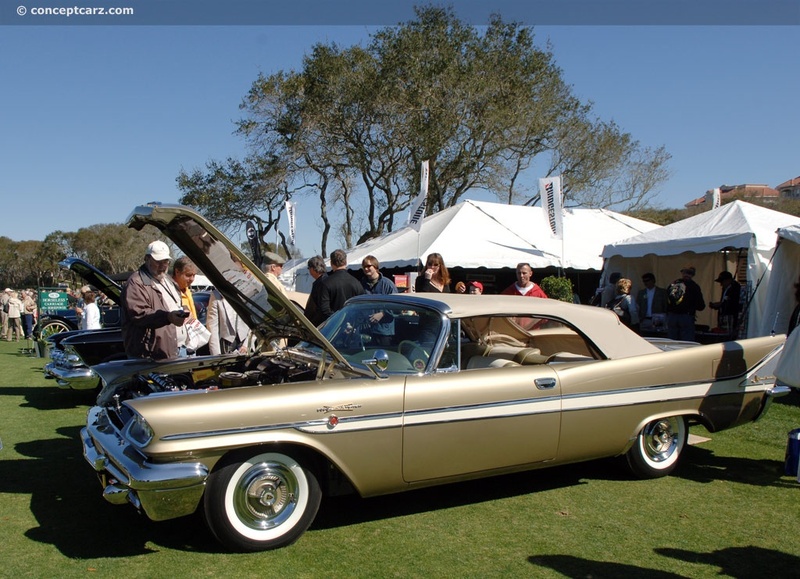 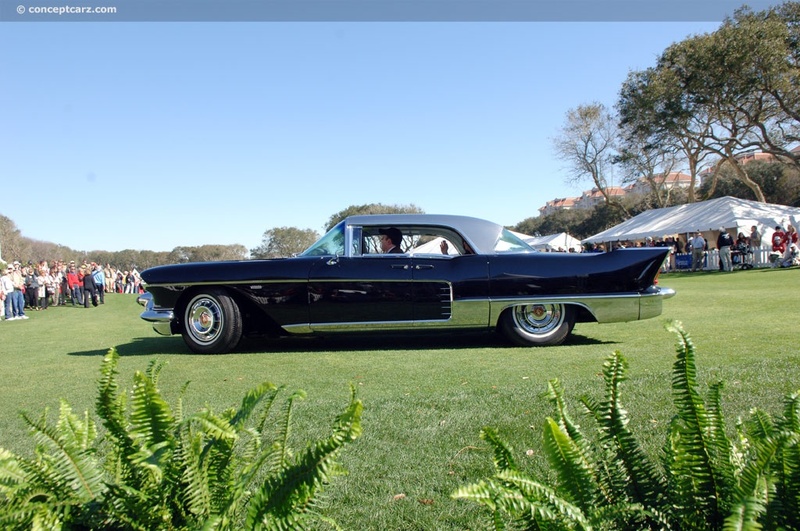 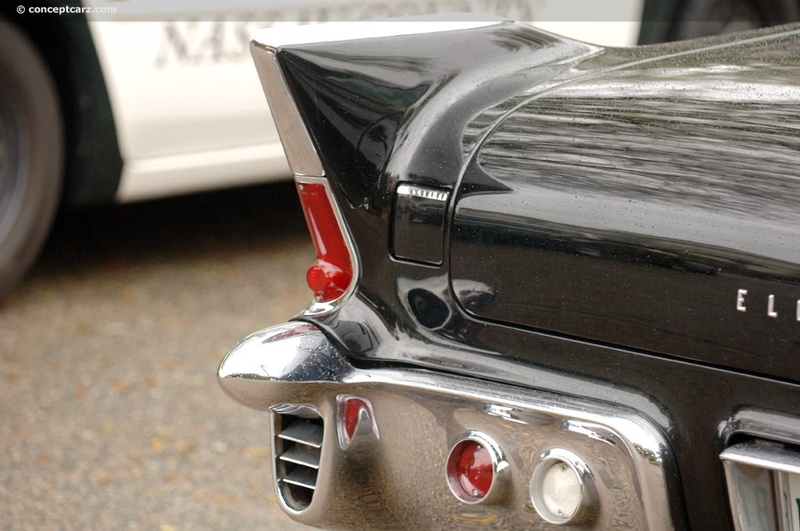 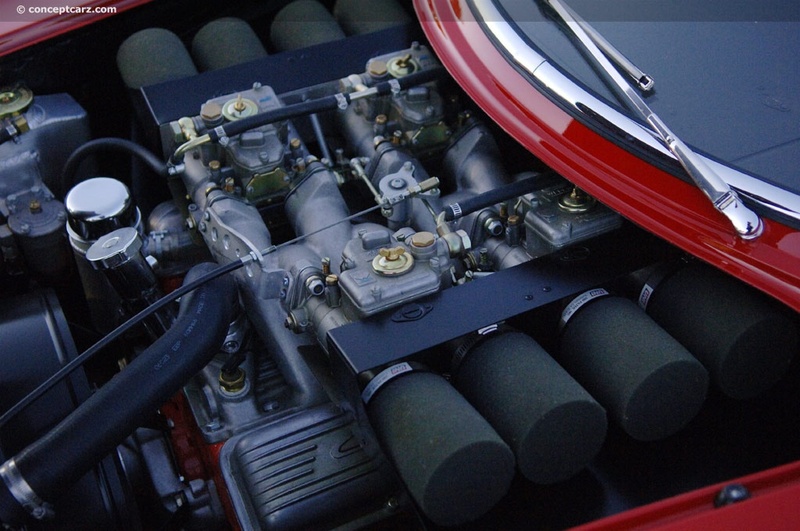 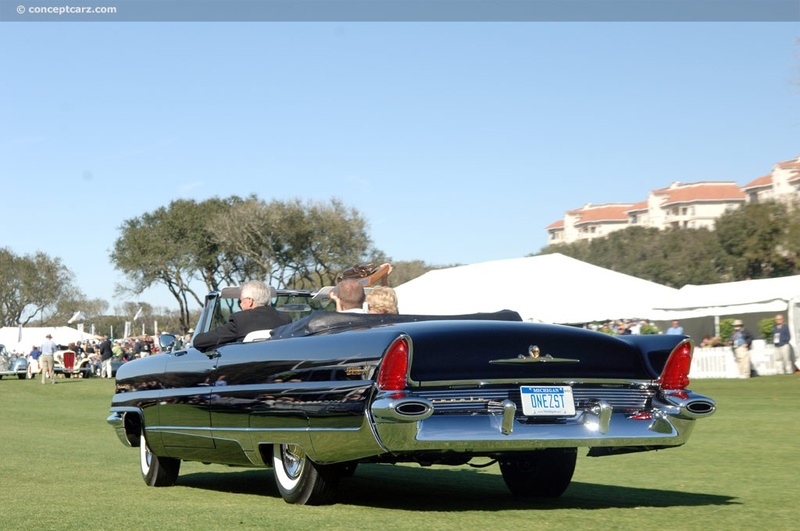 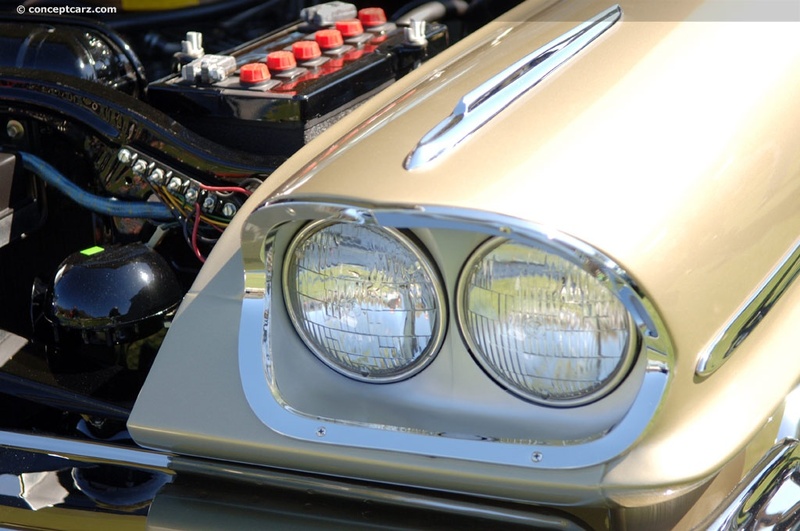 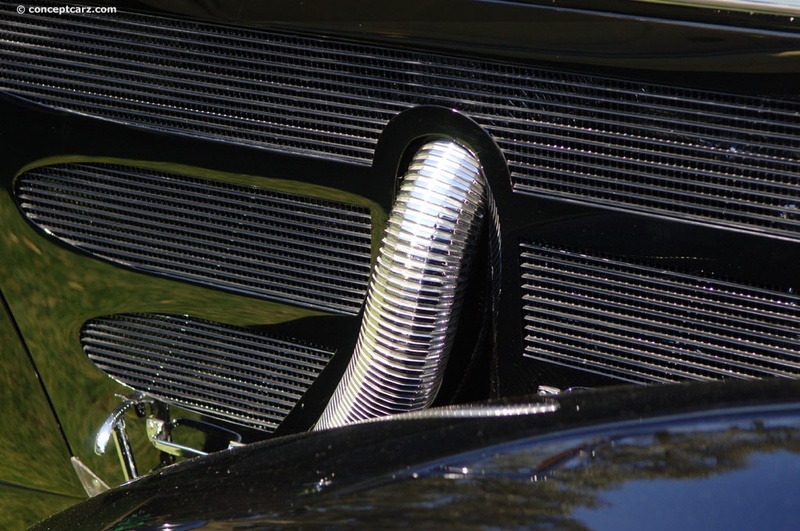 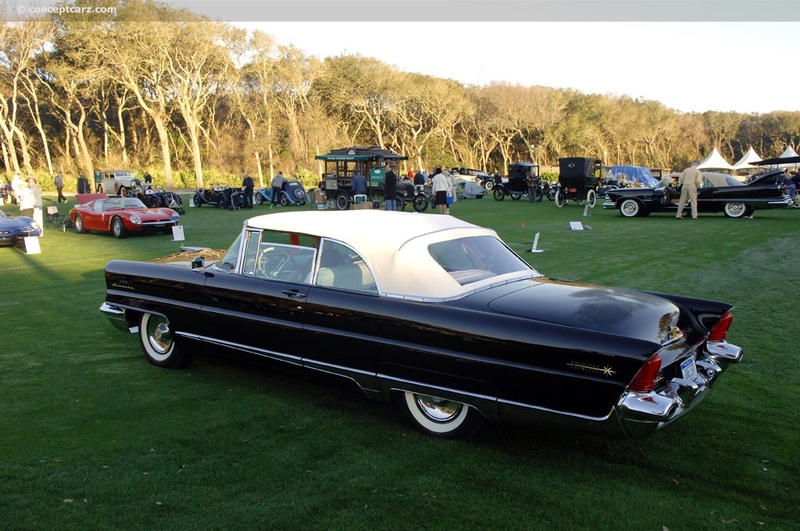 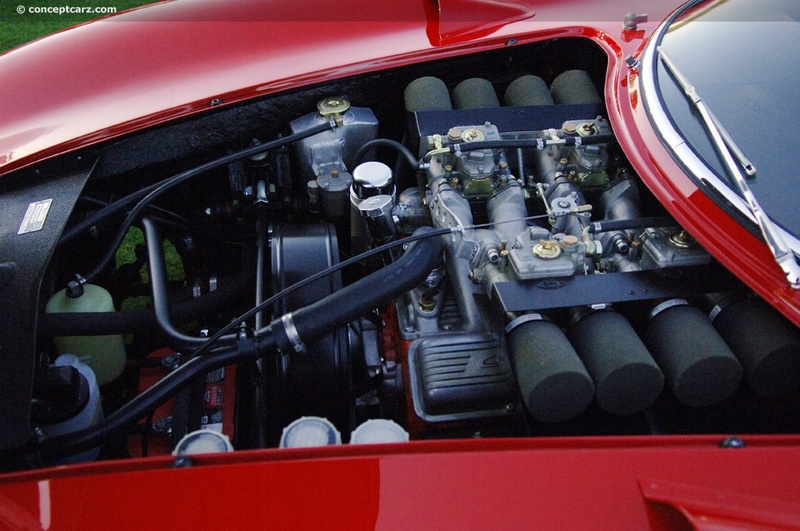 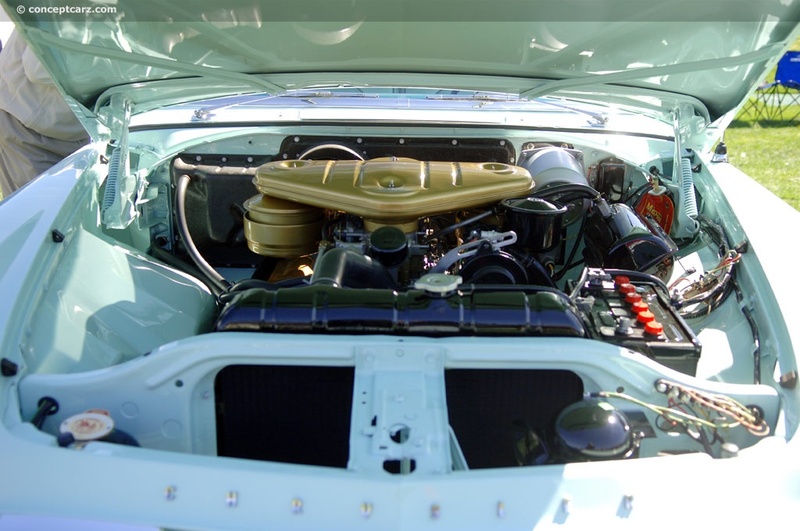 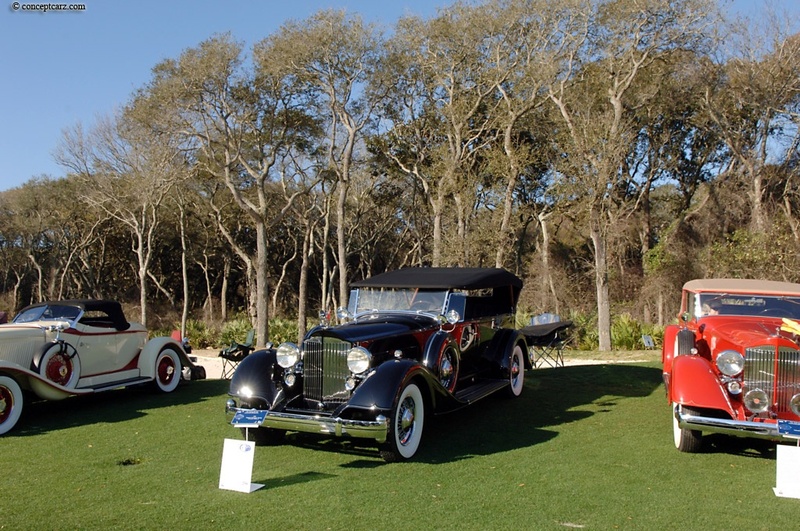 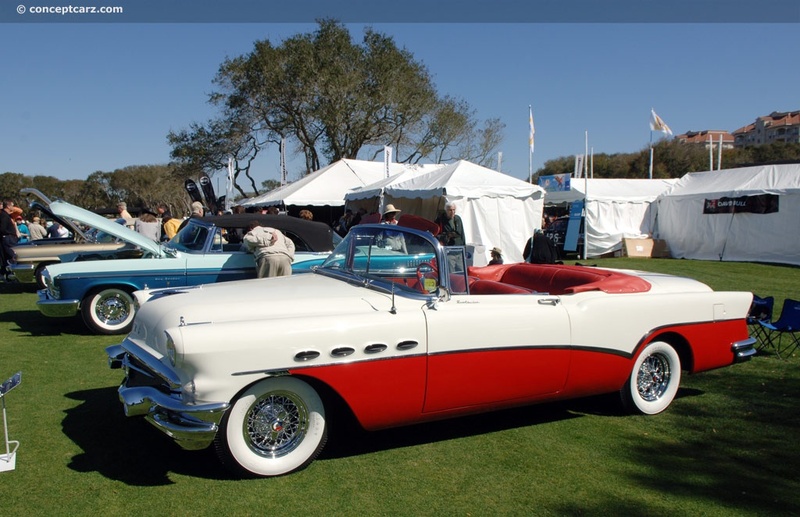 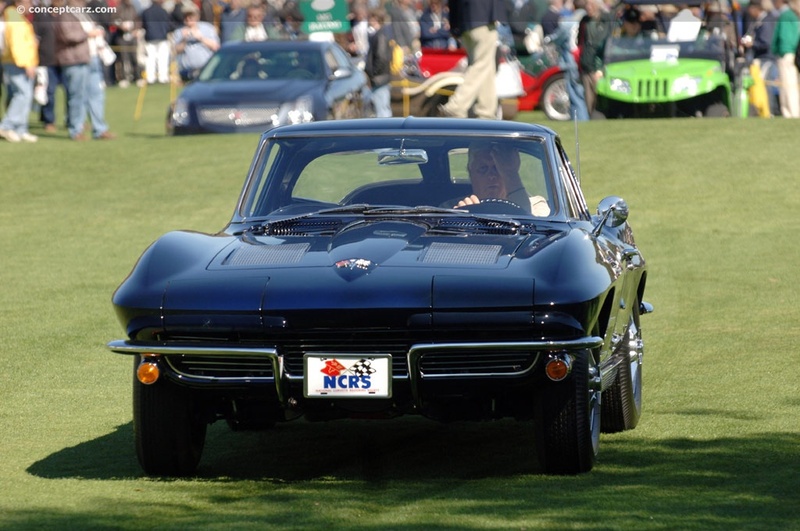 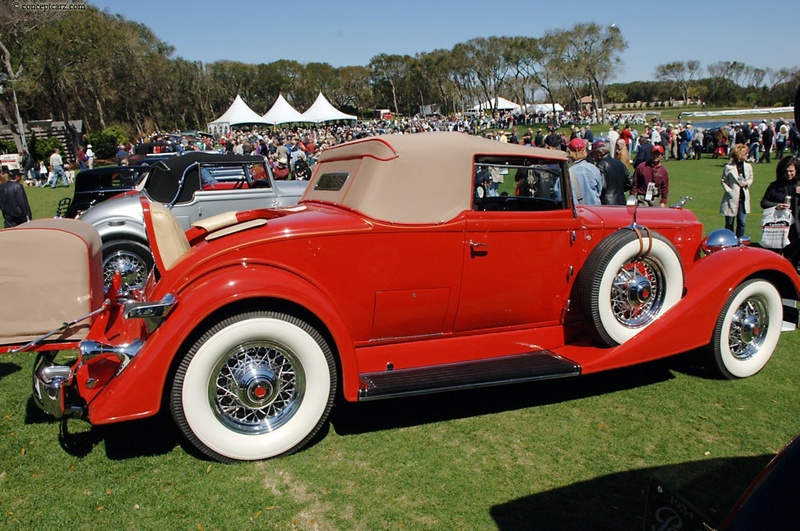 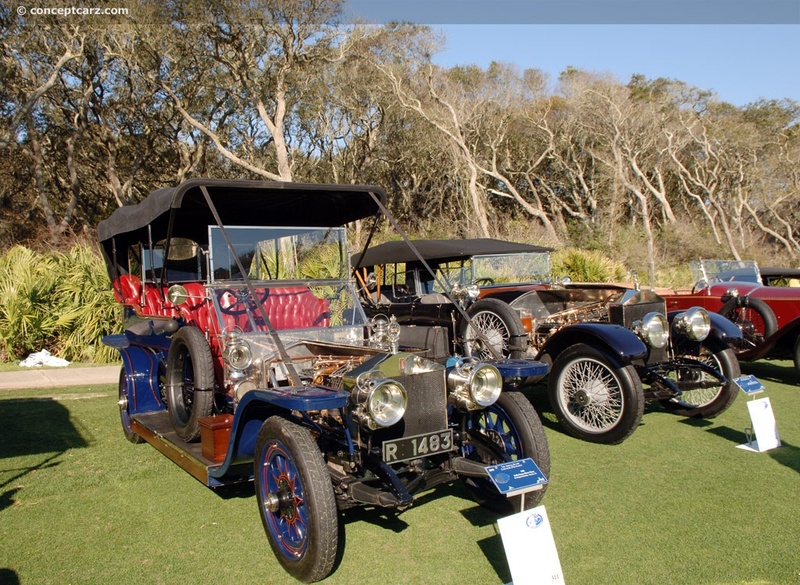 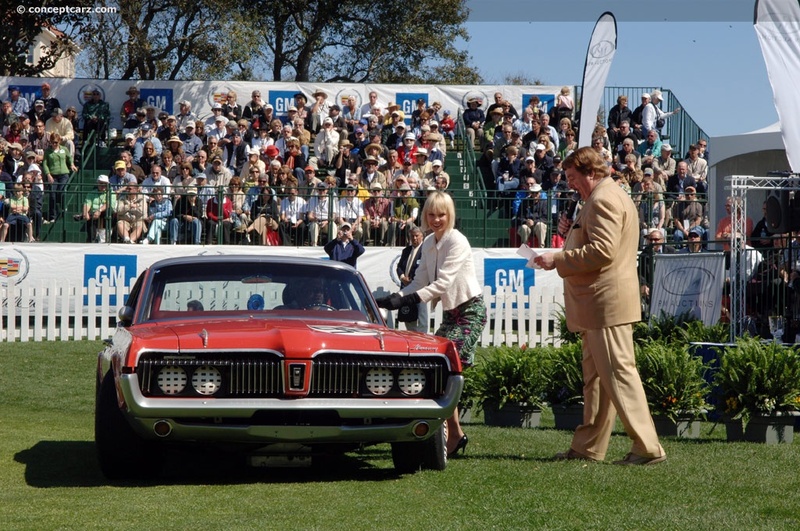 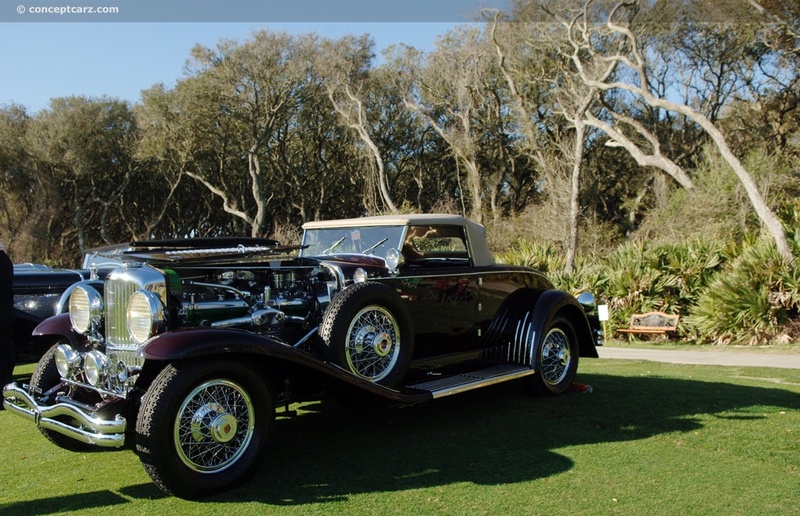 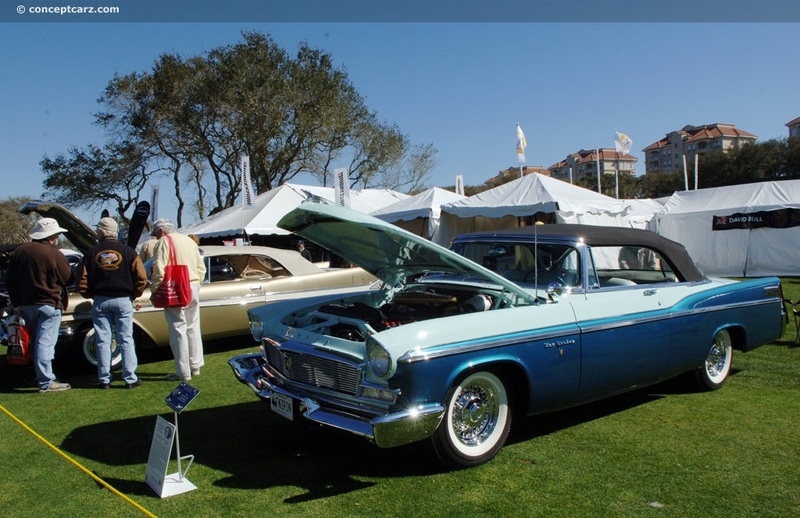 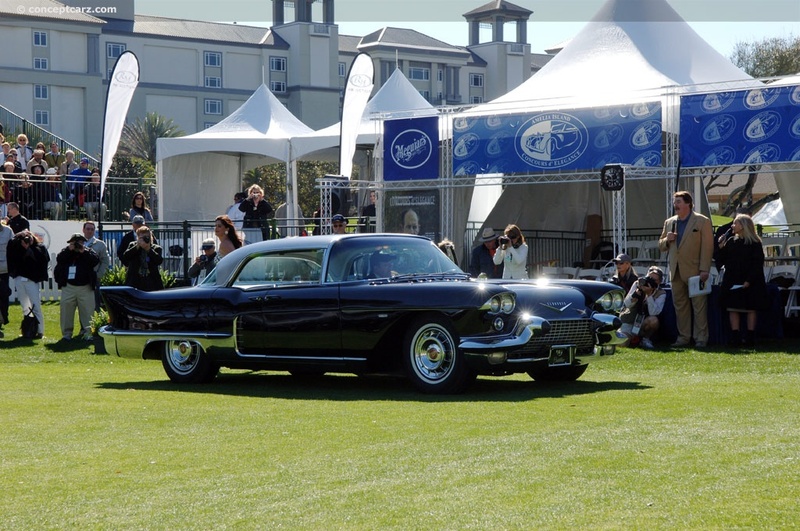 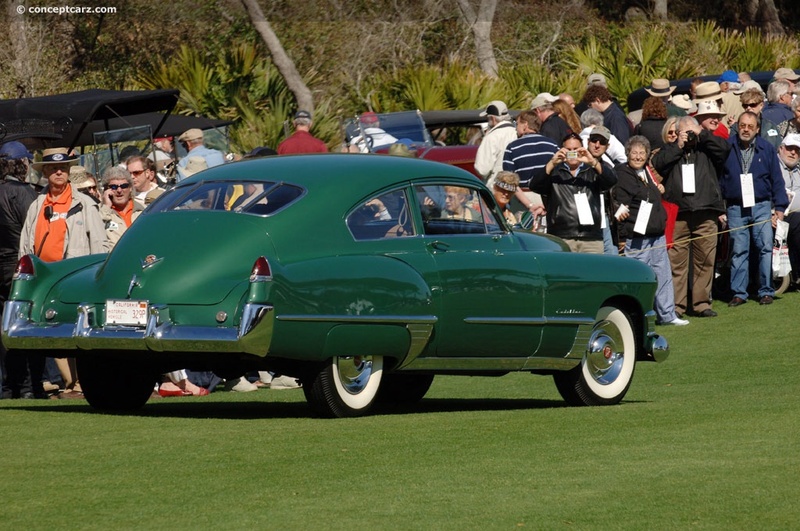 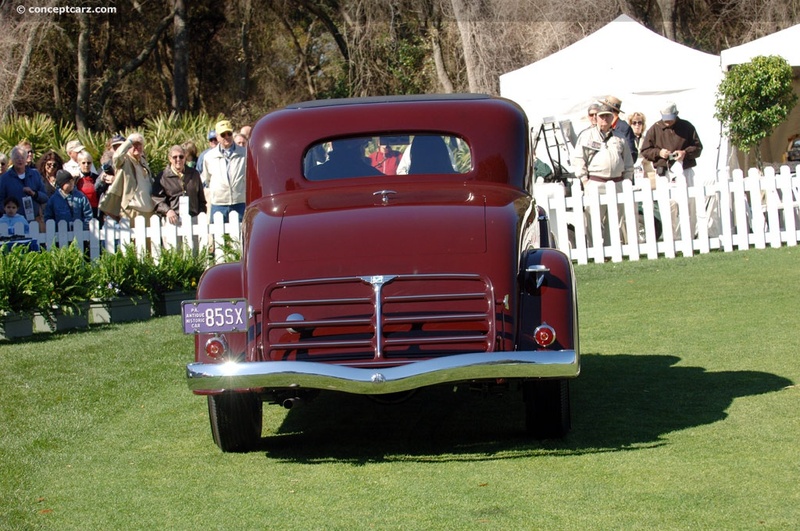 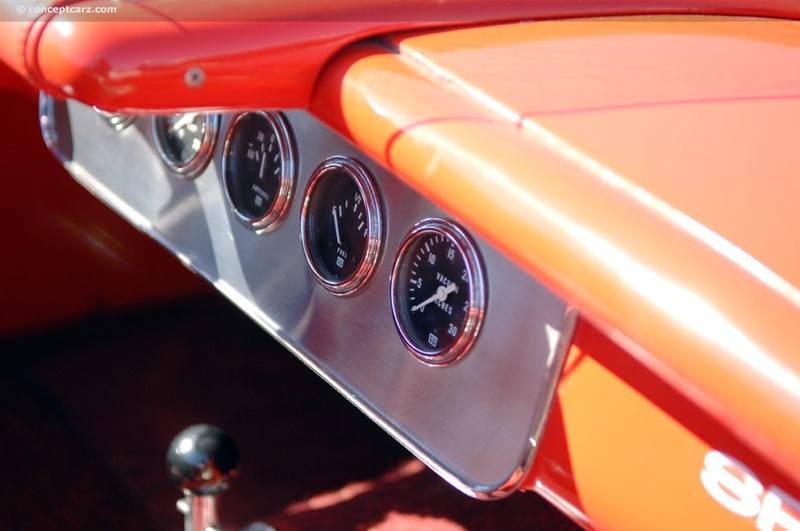 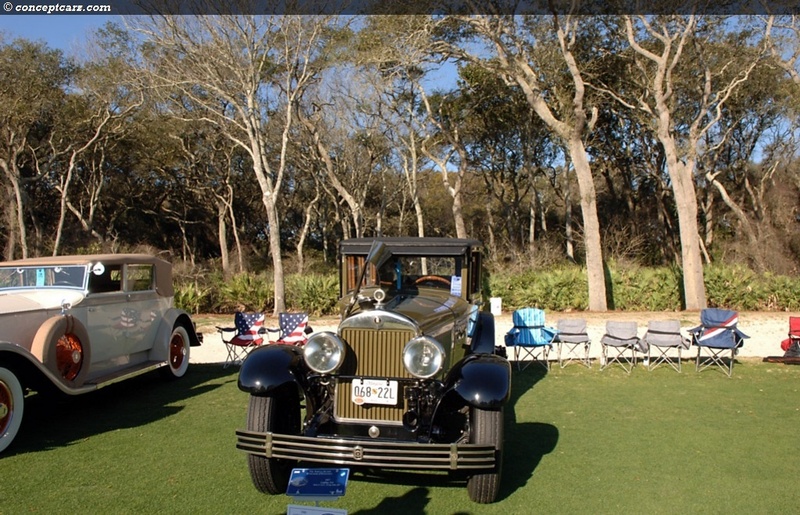 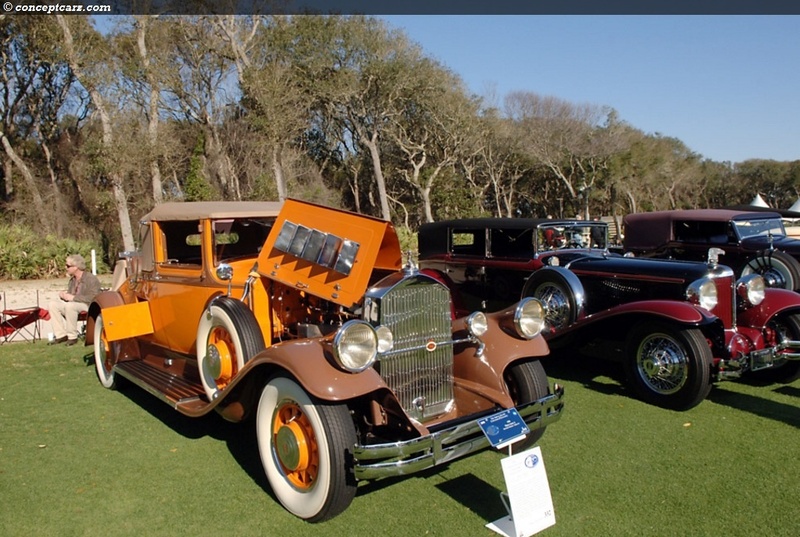 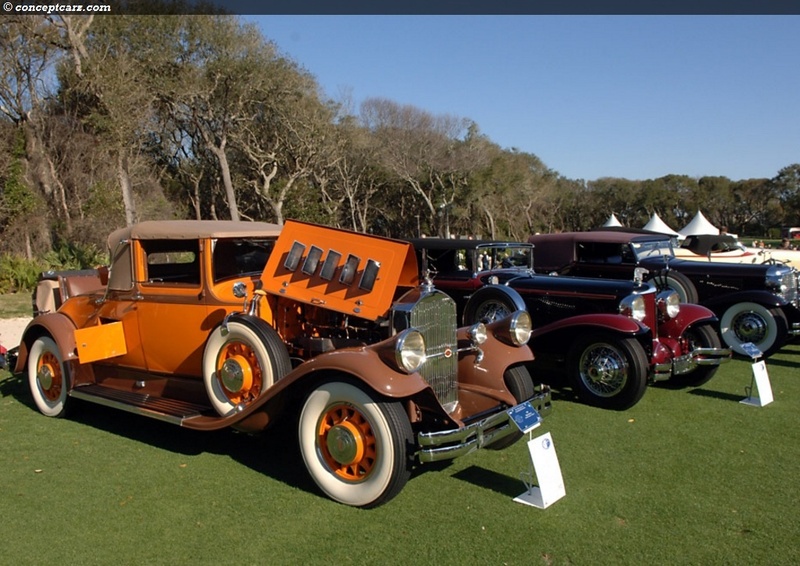 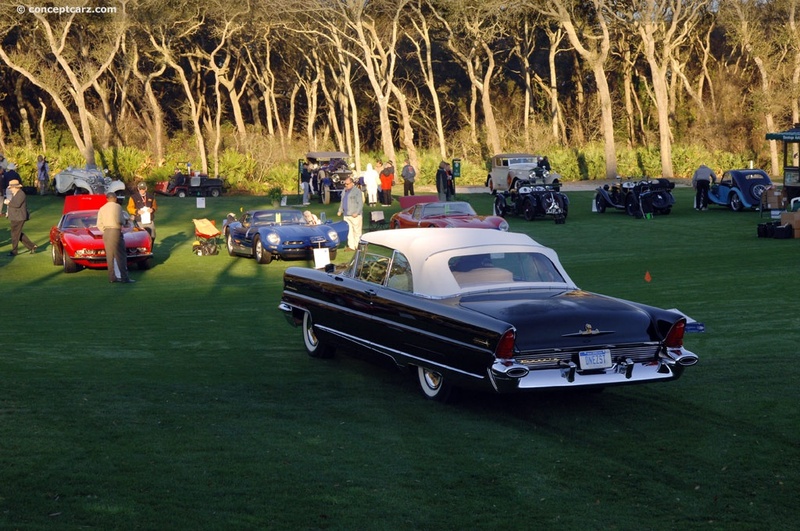 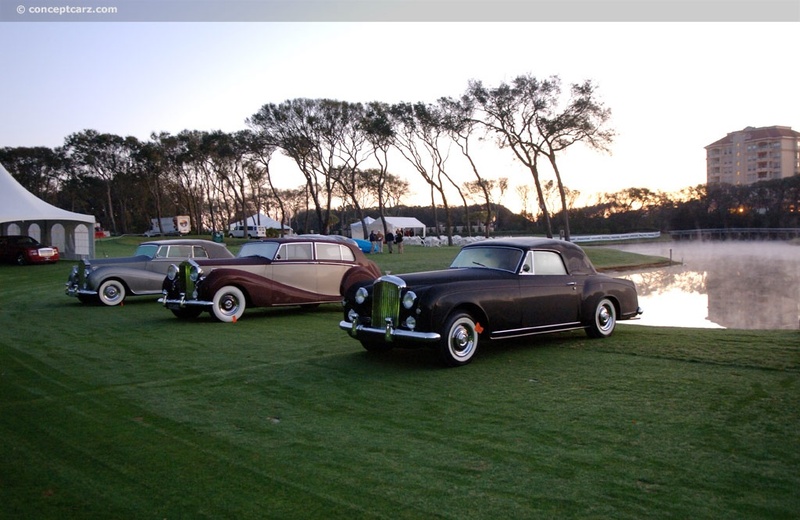 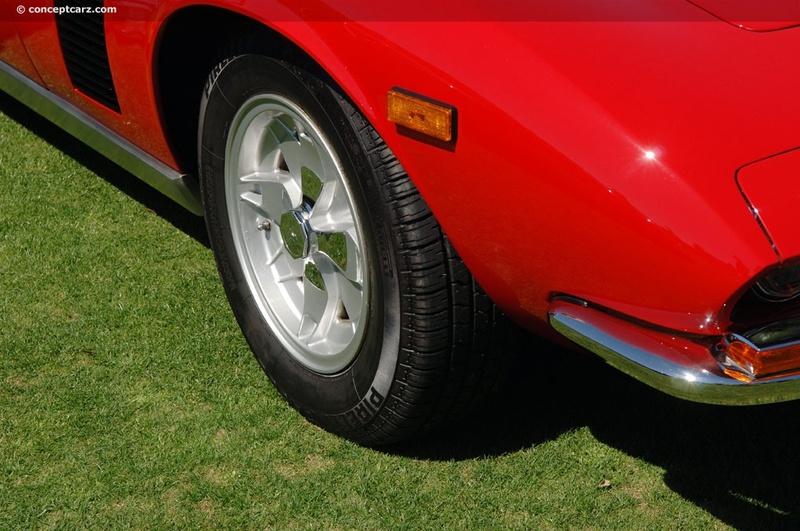 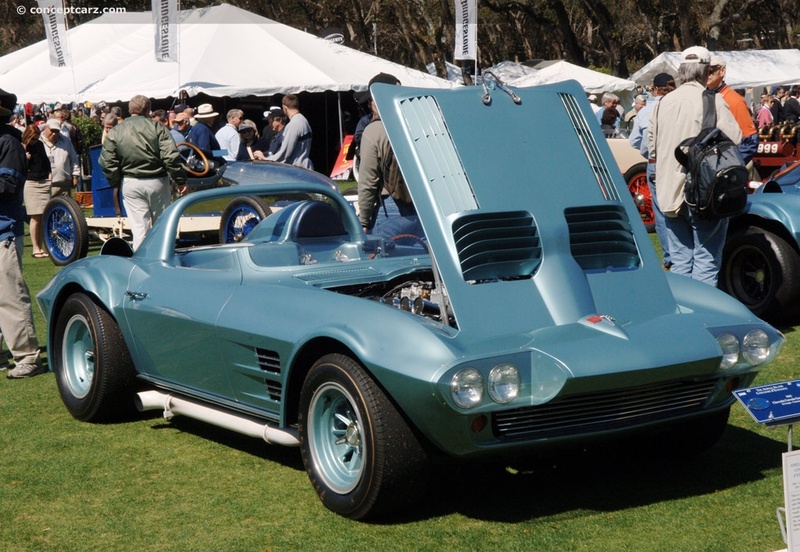 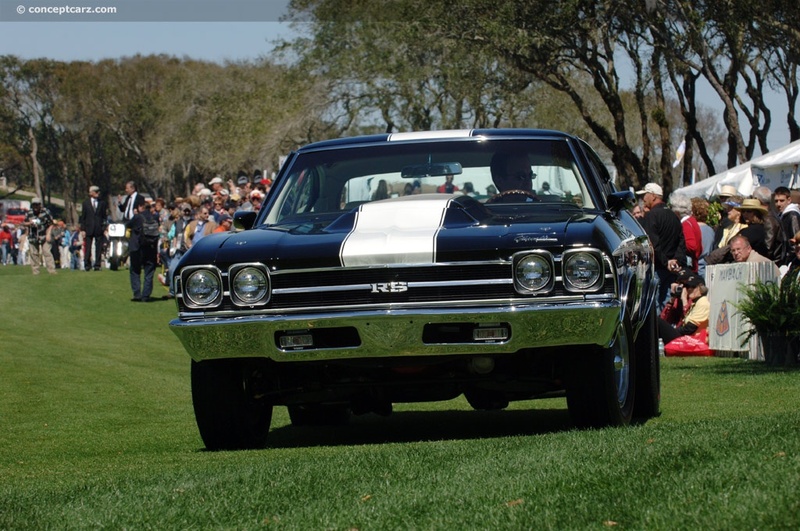 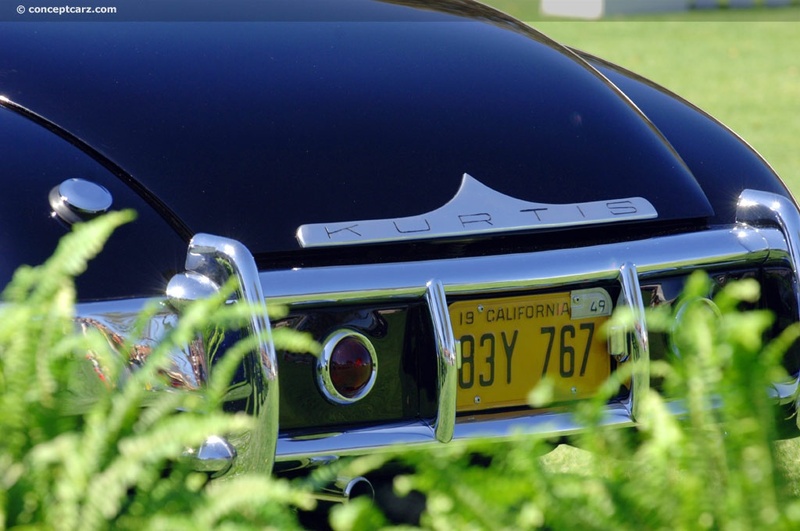 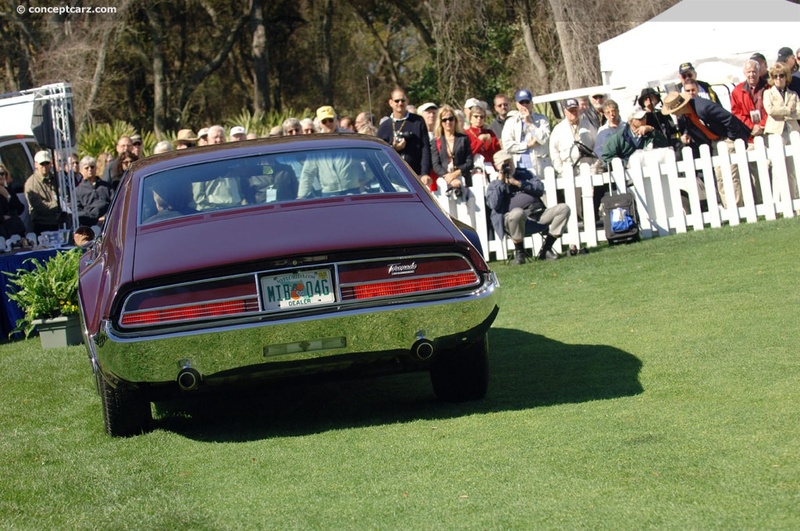 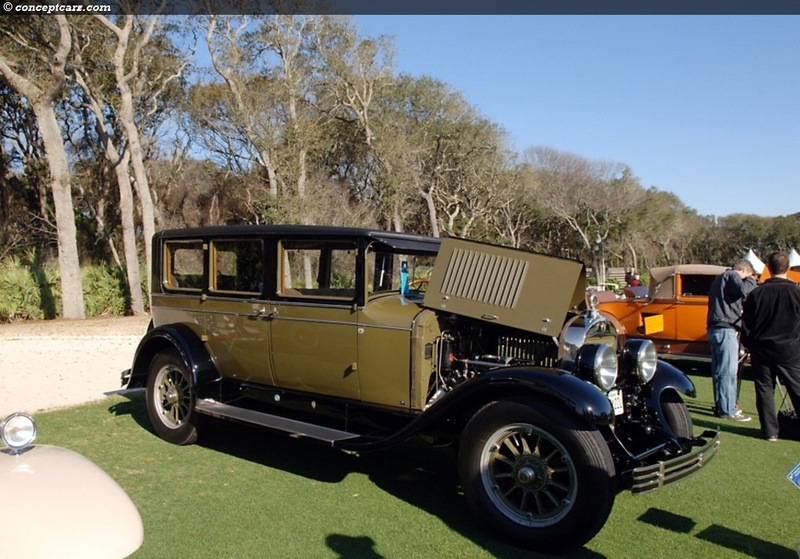 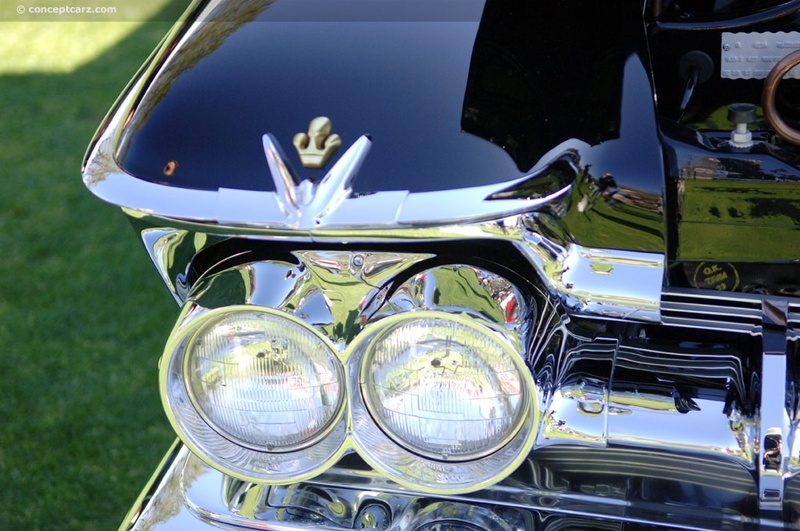 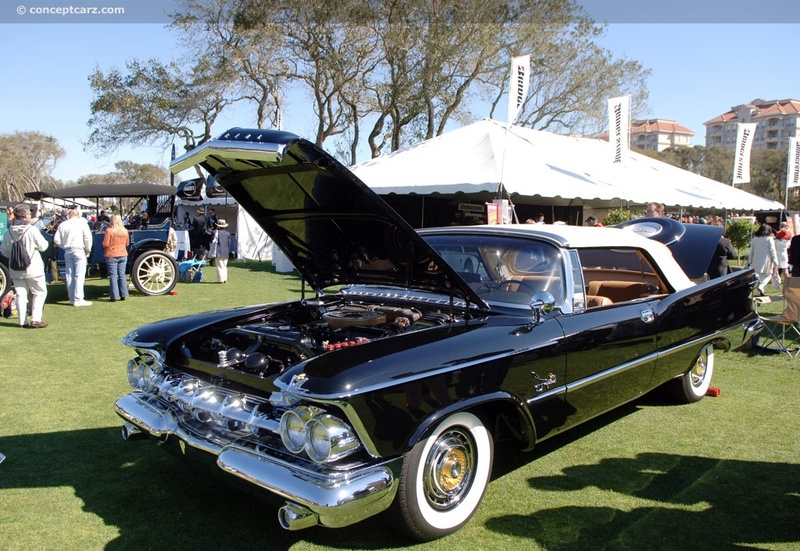 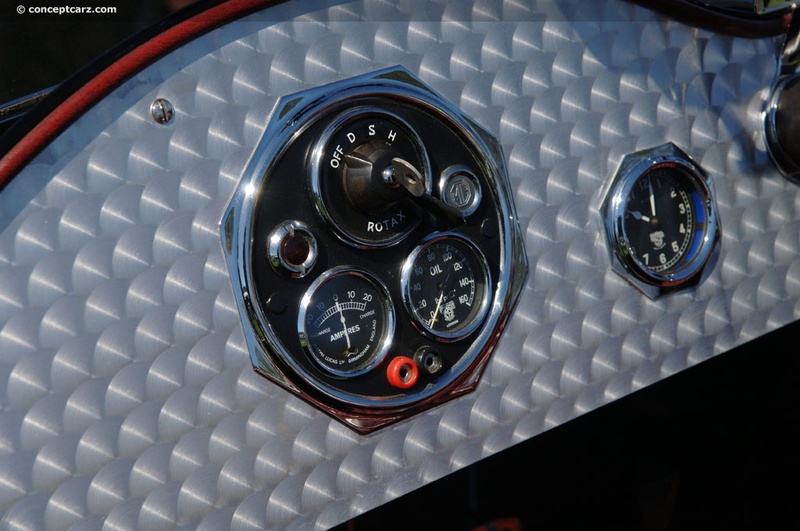 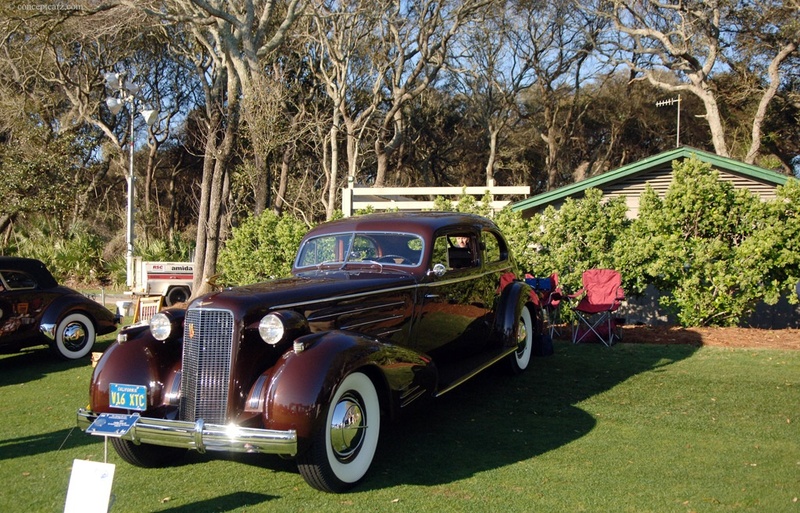 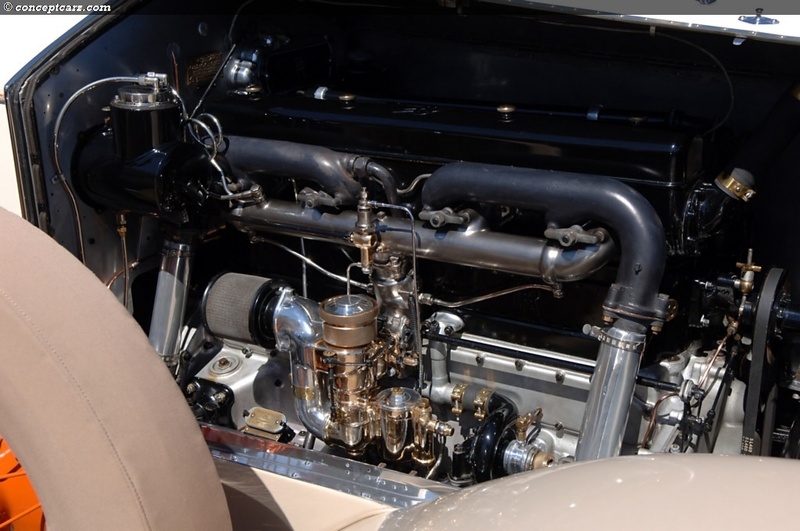 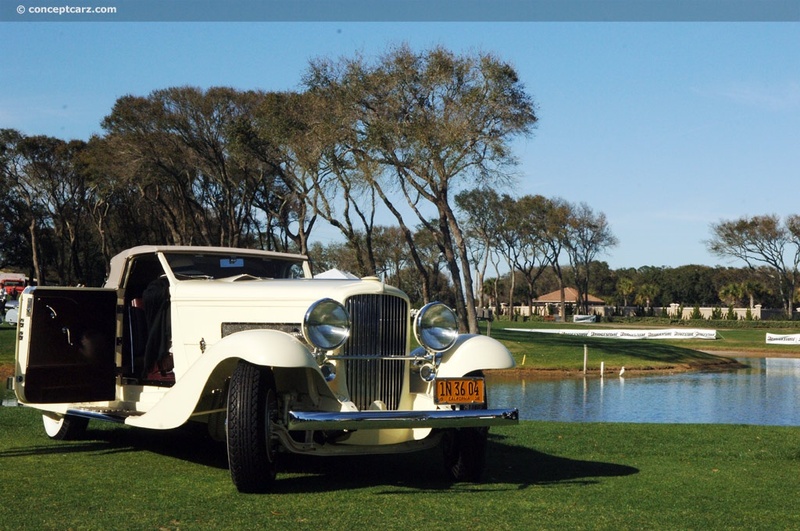 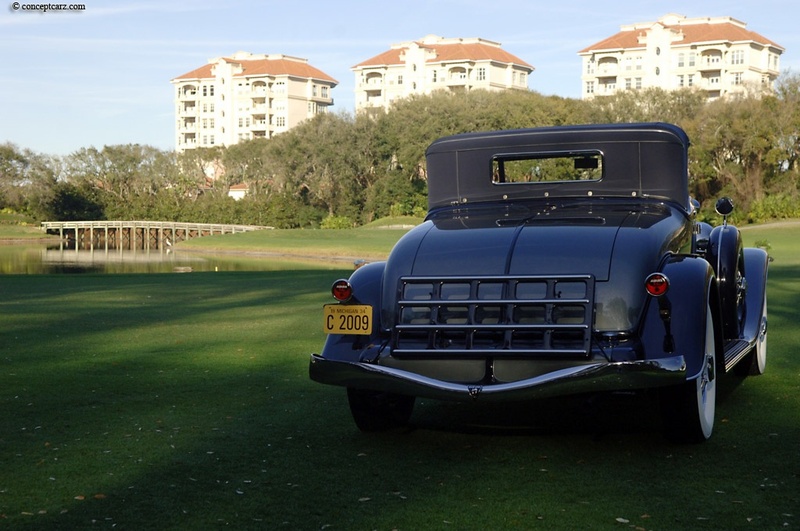 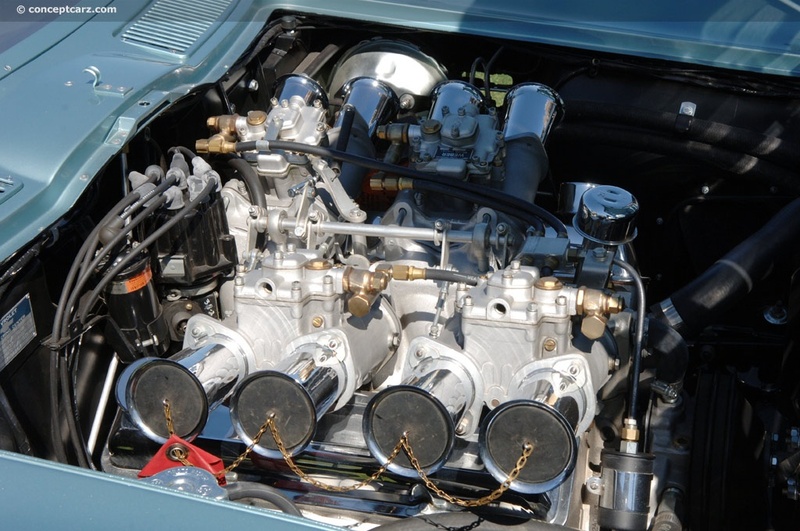 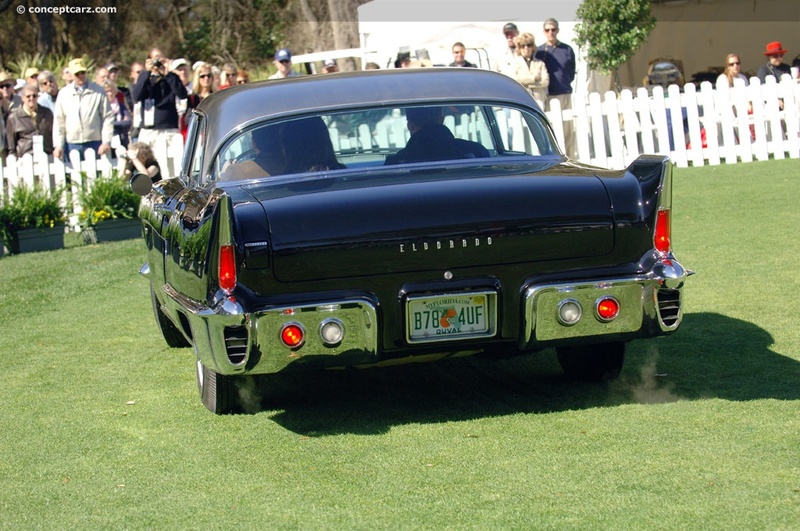 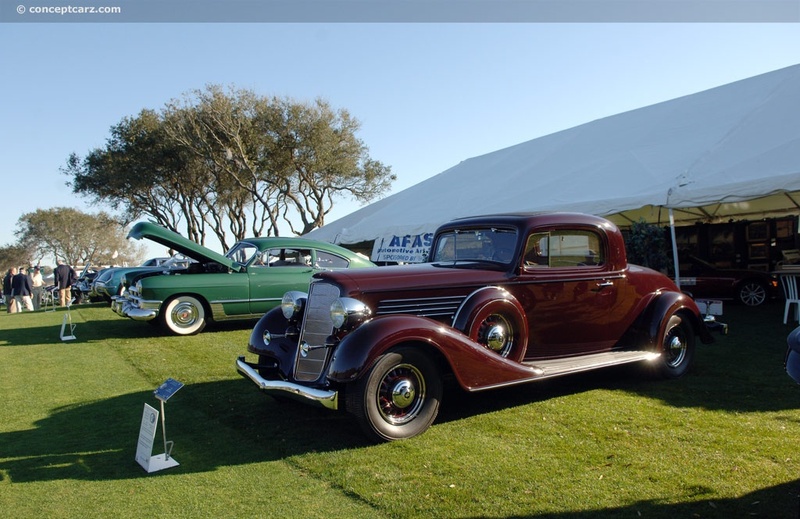 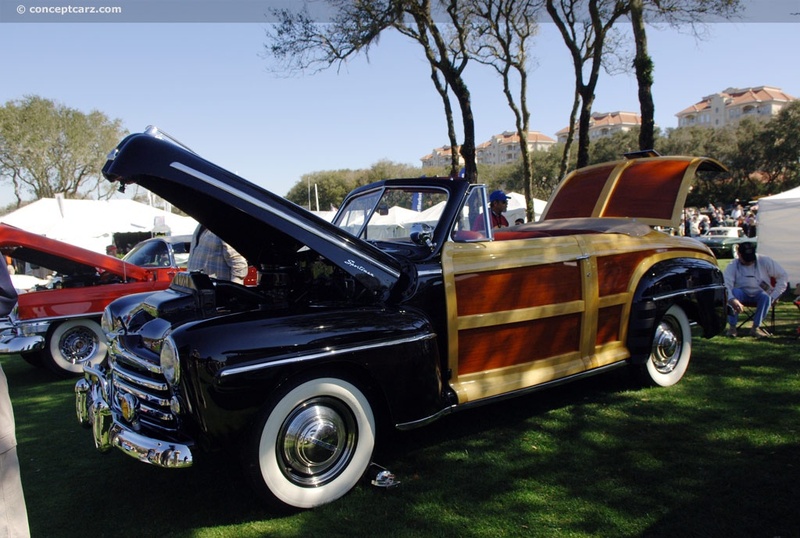 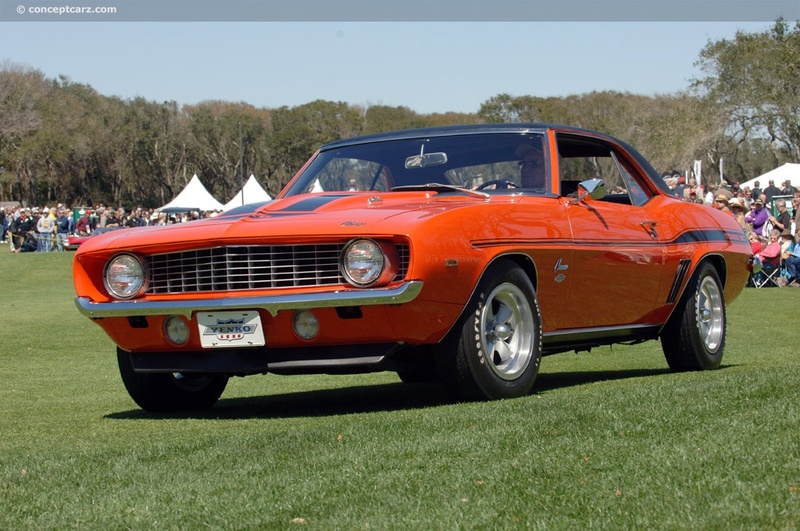 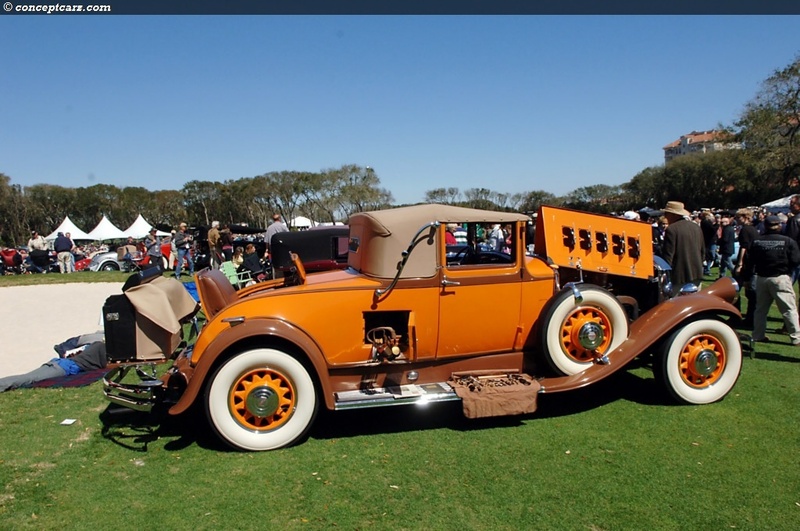 In the world of refined collector car ownership, the awards at Amelia Island are among the most sought after due to the level of competition and the equally impressive pedigree of the judges who are there to critique the machines. 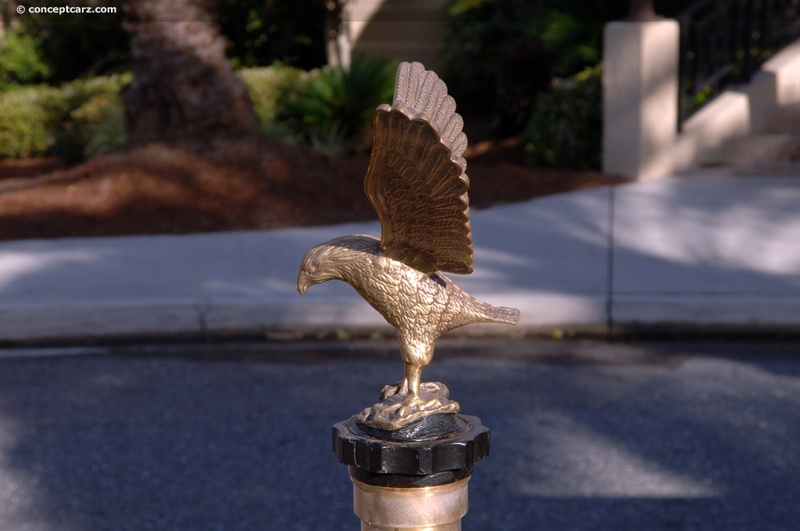 To all of the winners, Congratulations. 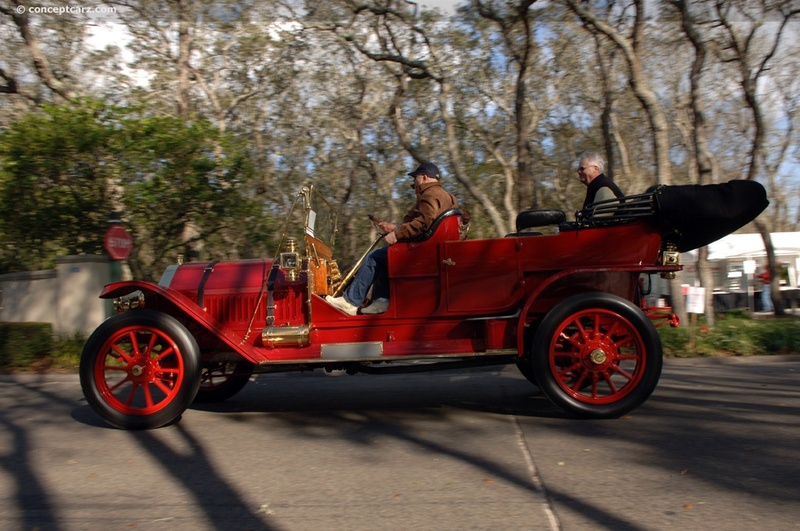 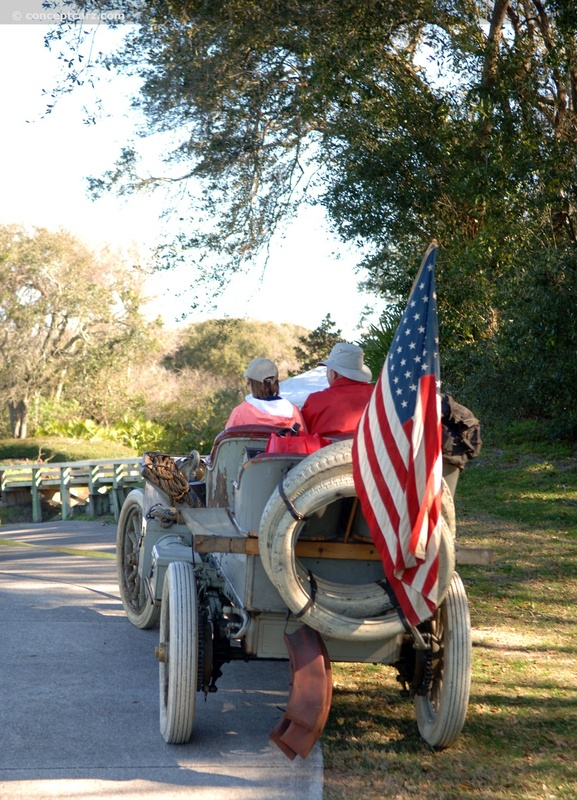 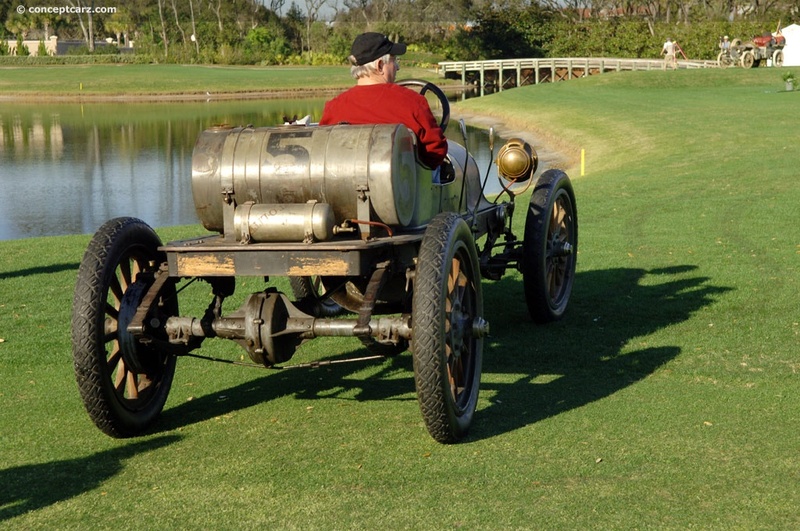 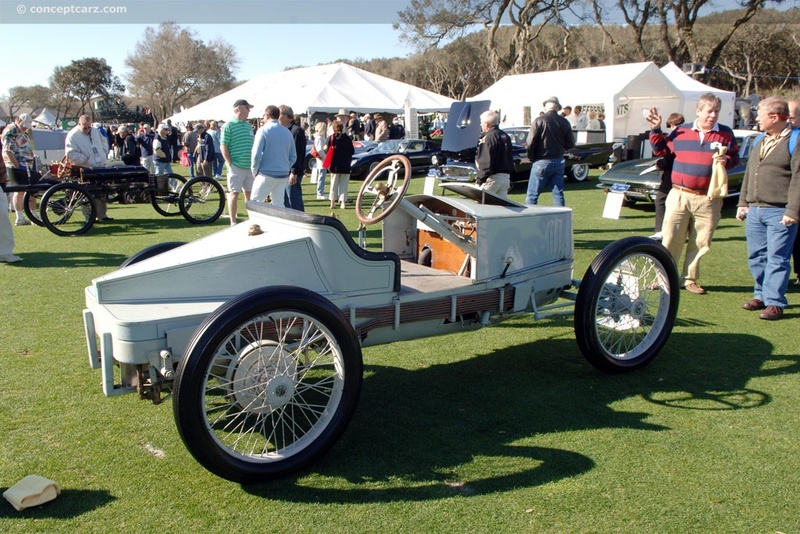 The automobile evolved faster than the roadways during the early 1900s and one of the best places to race and do speed runs was on the smooth, sandy beaches in Ormond Beach, Florida. 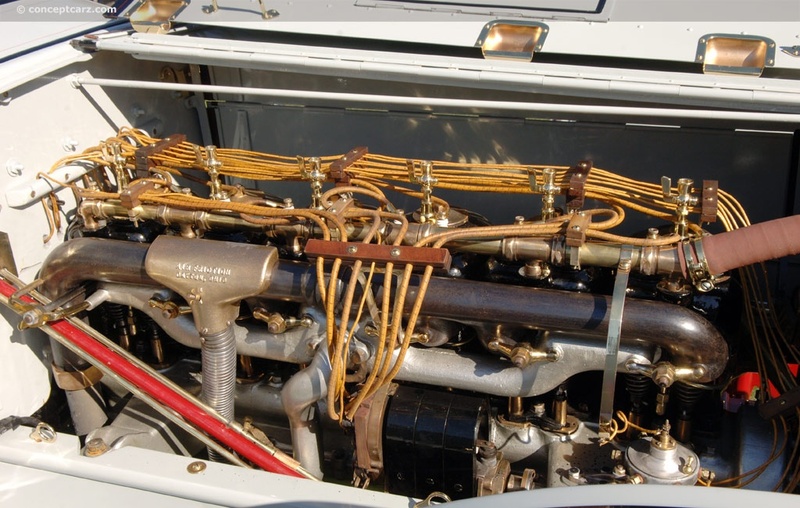 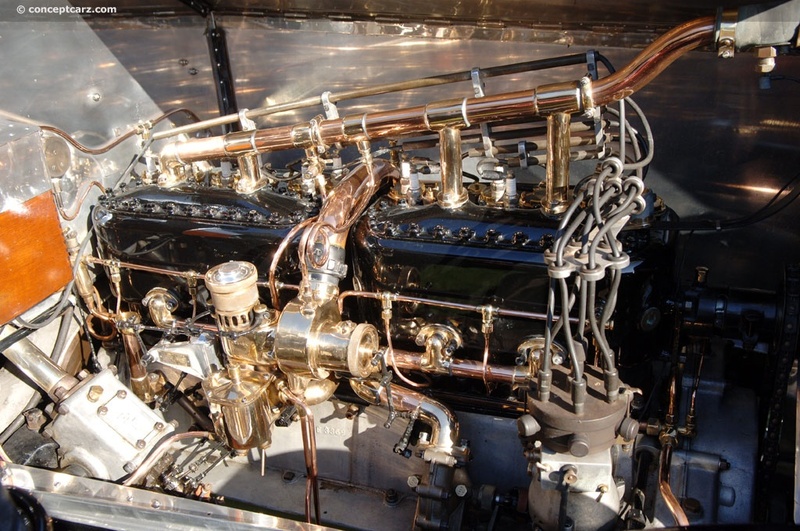 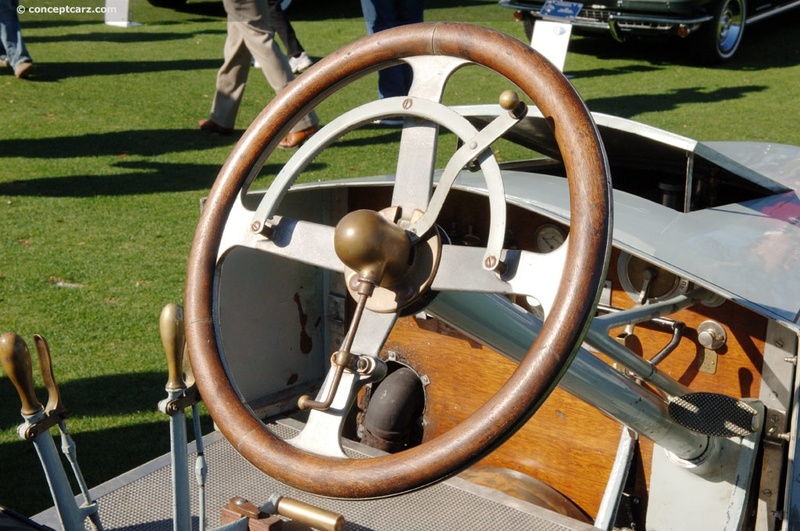 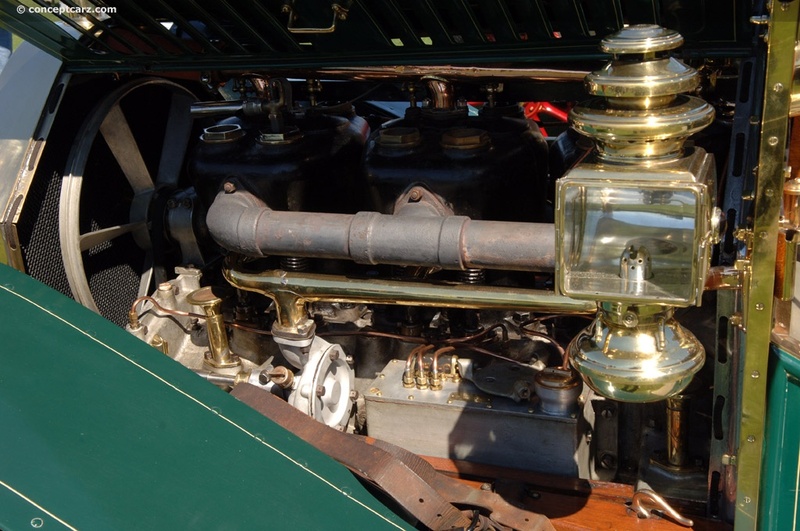 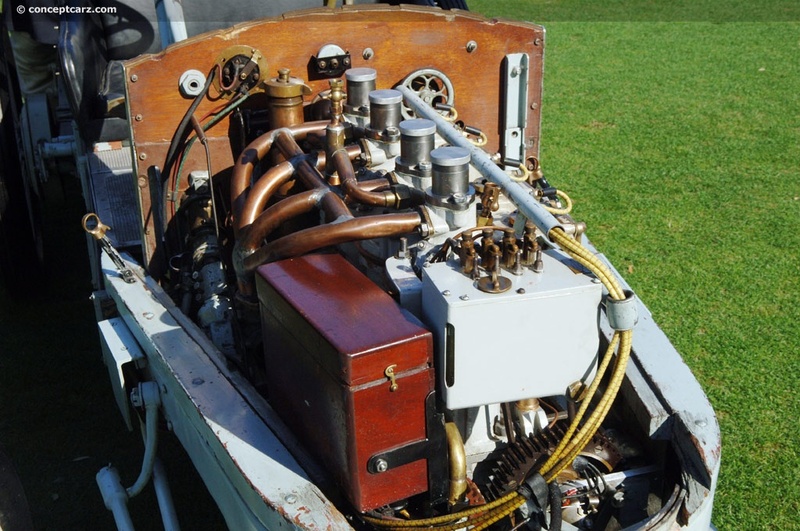 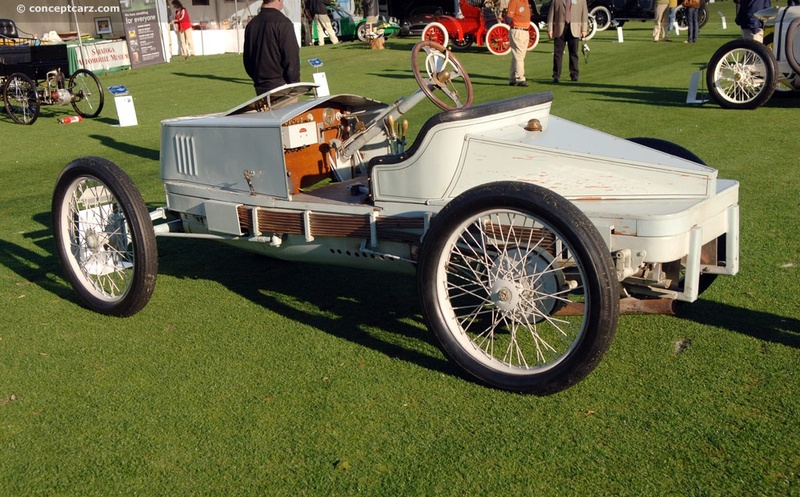 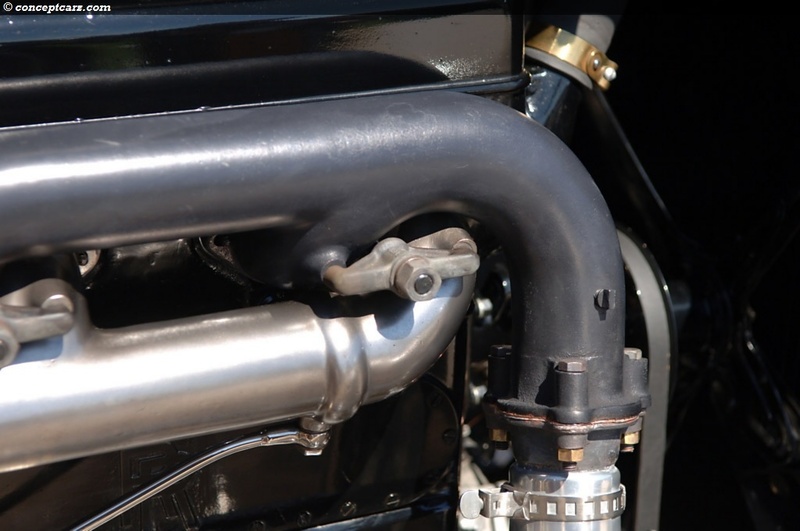 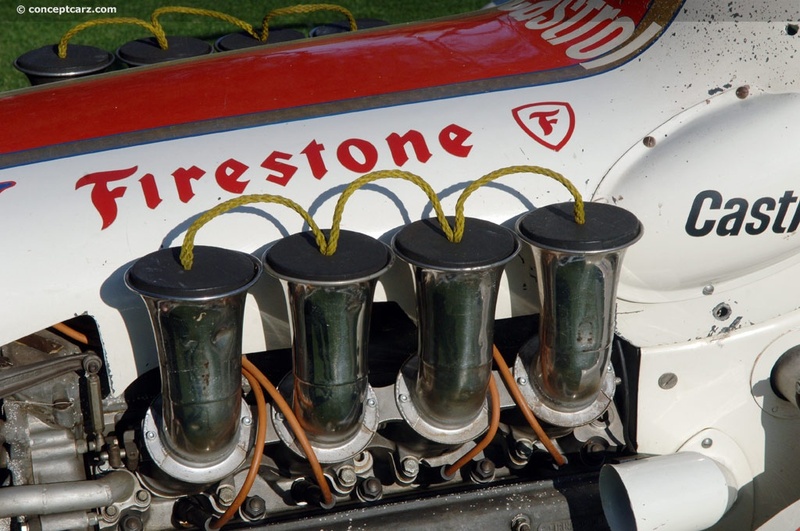 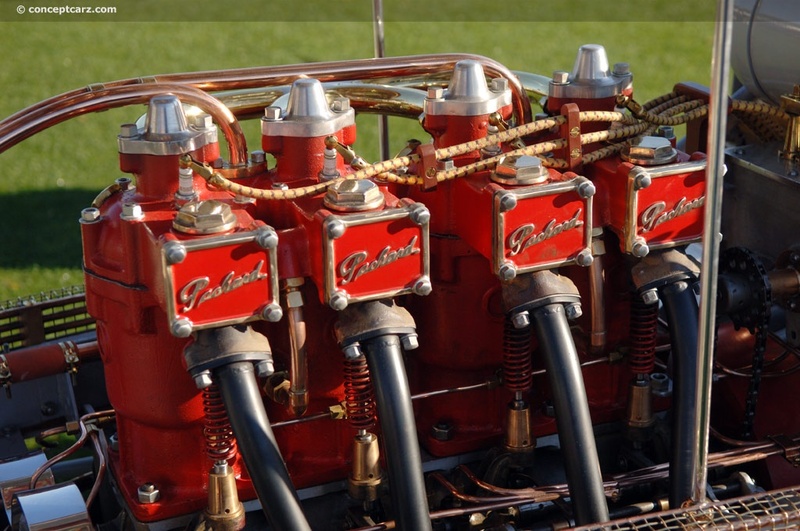 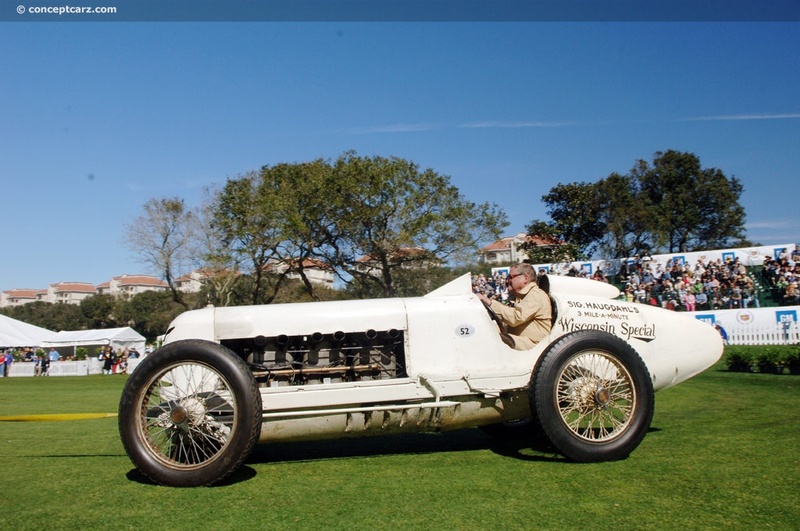 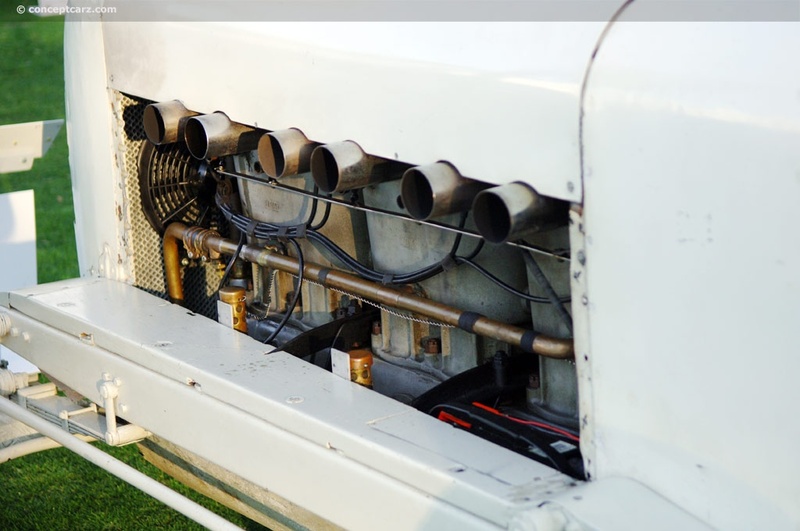 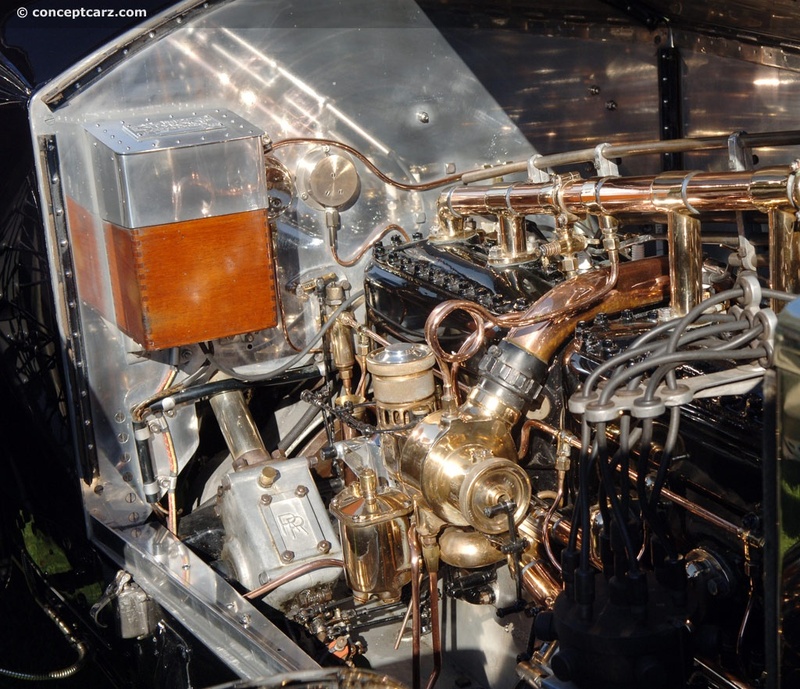 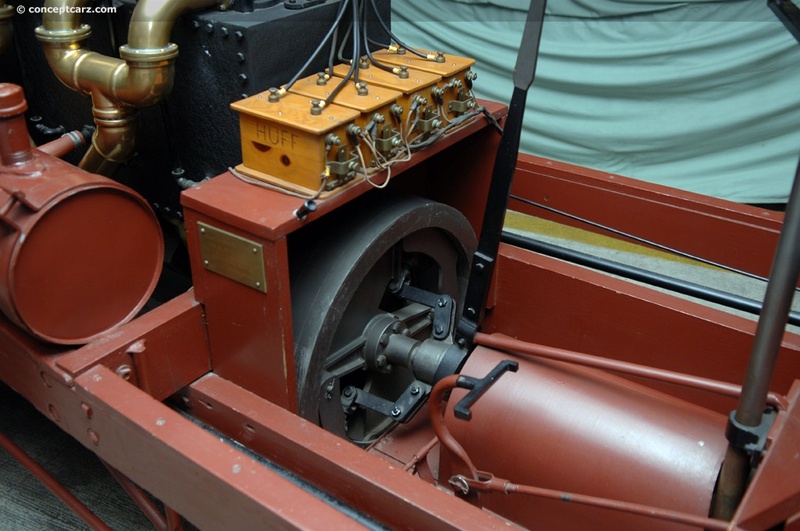 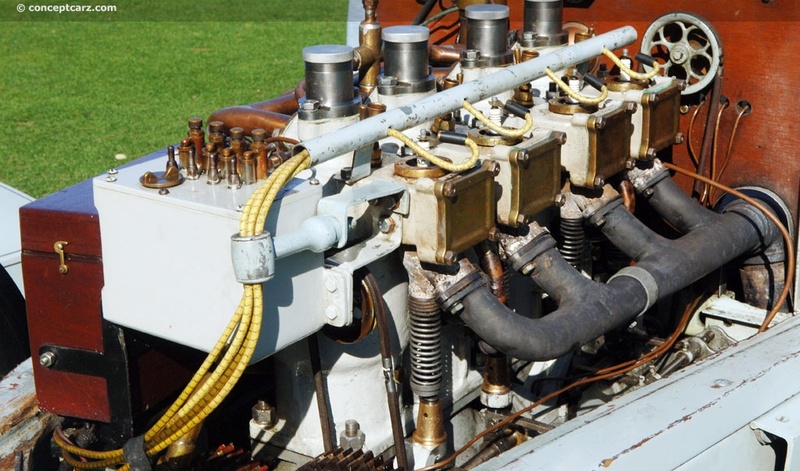 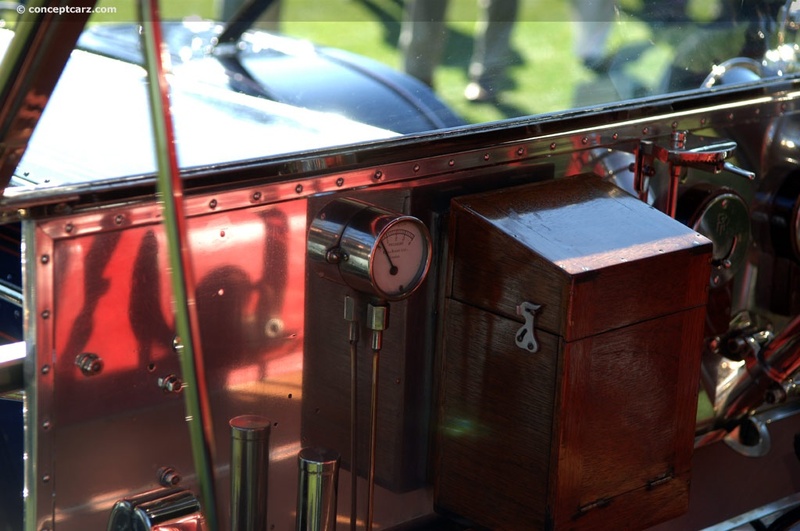 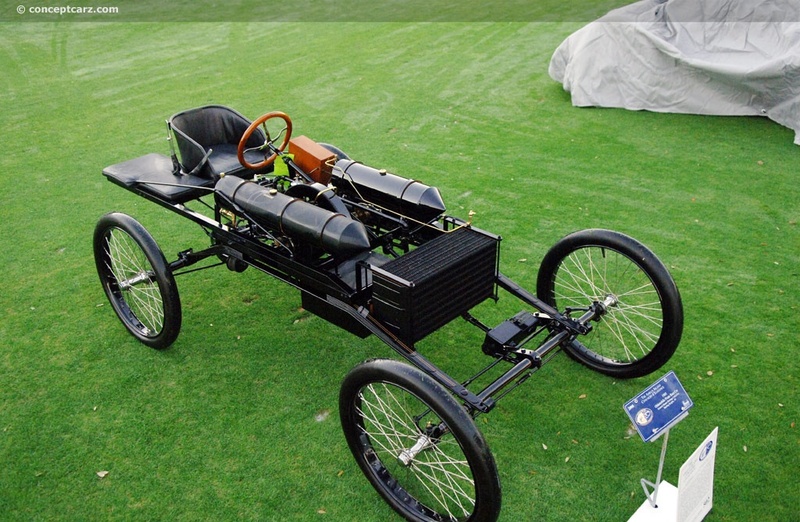 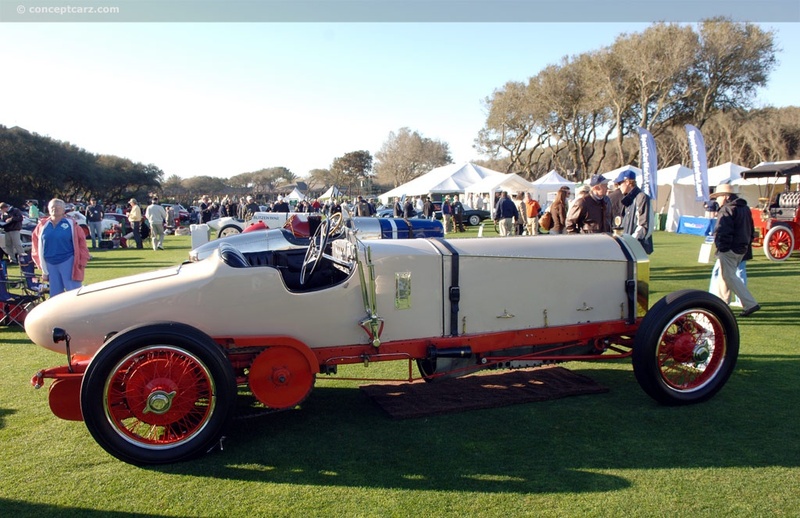 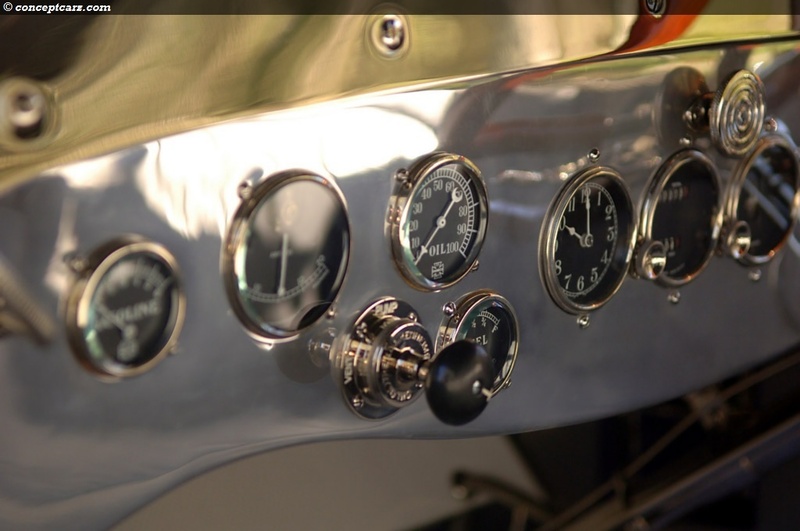 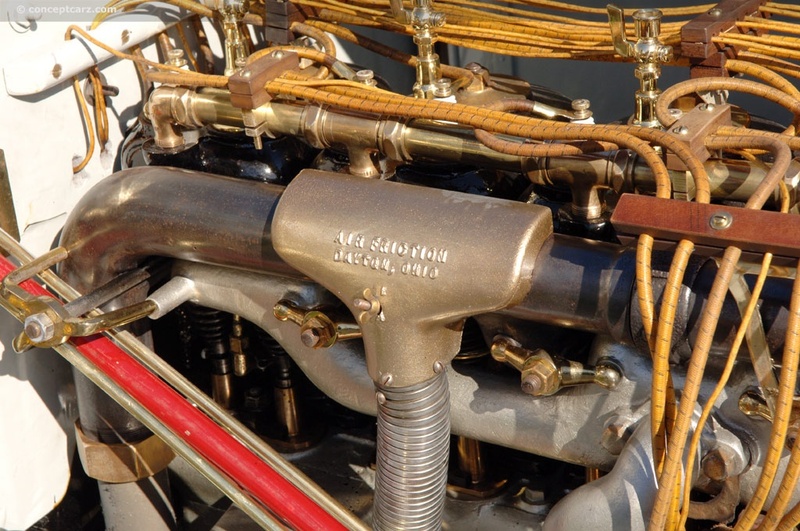 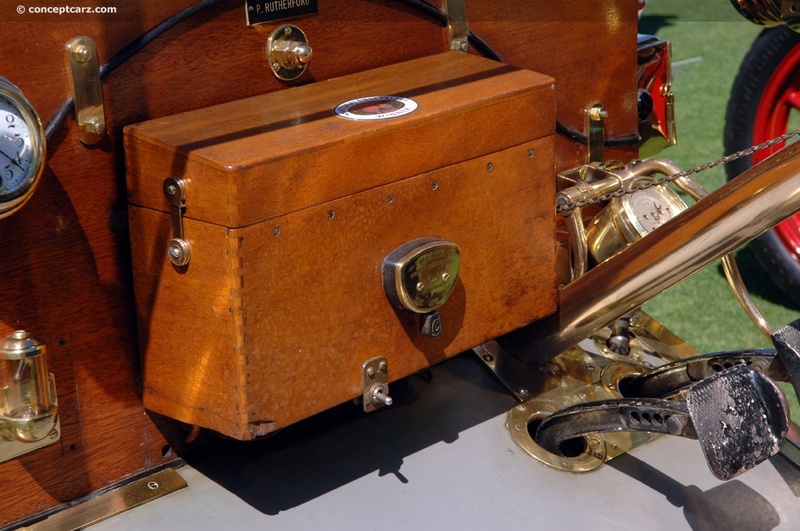 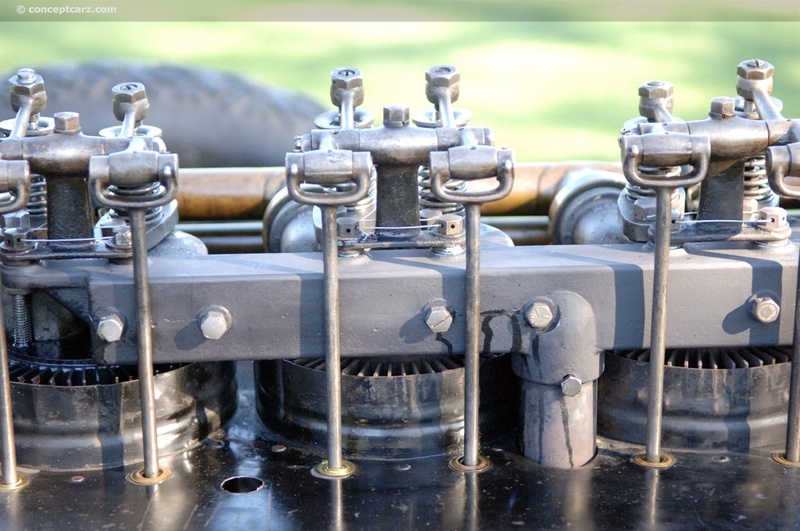 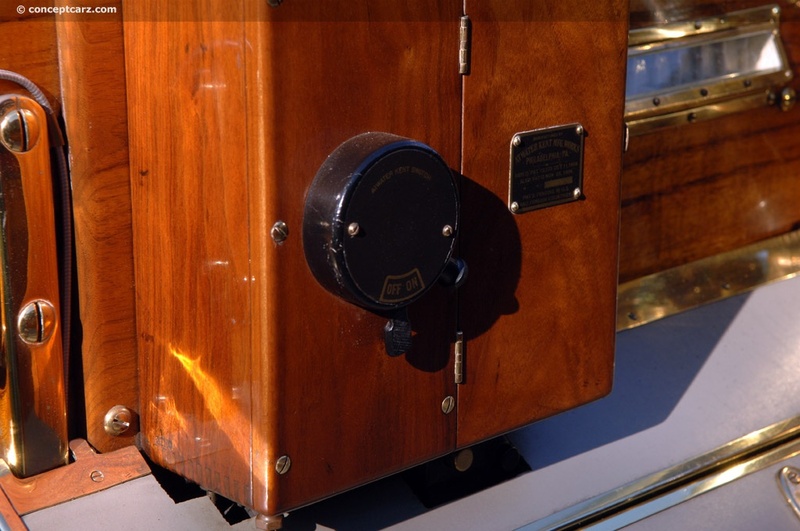 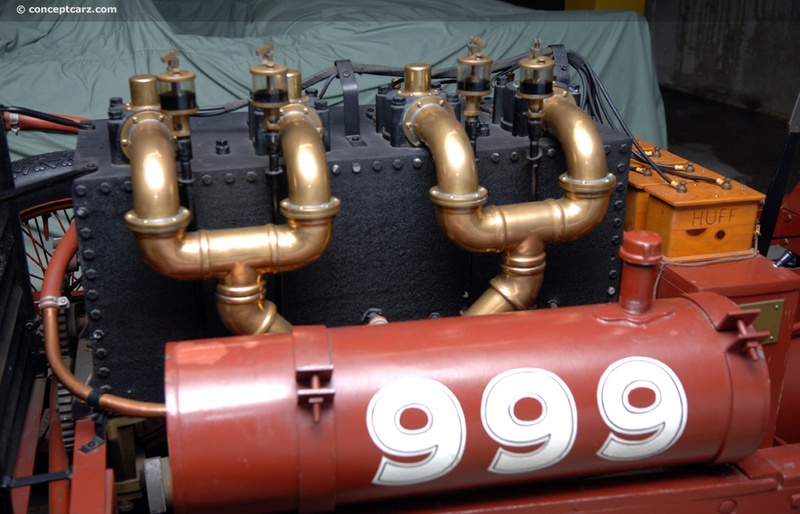 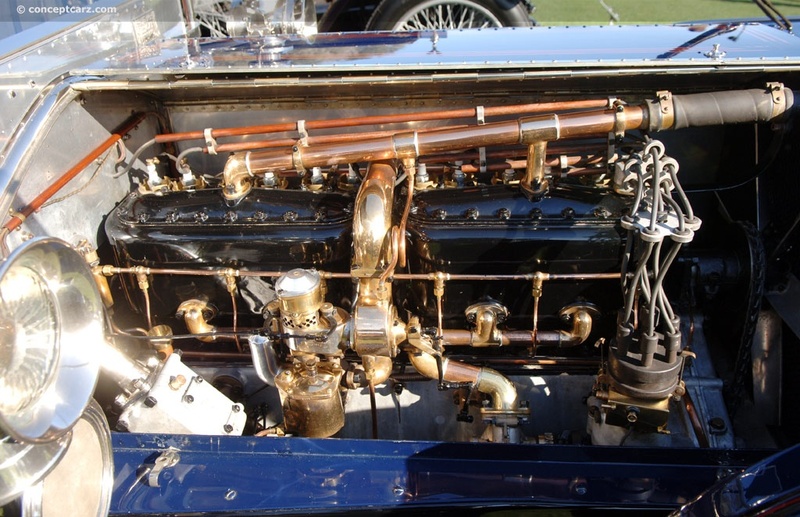 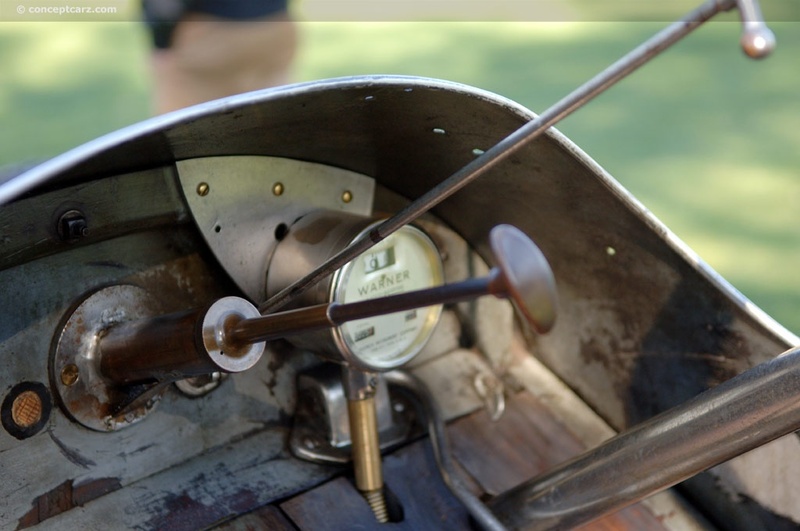 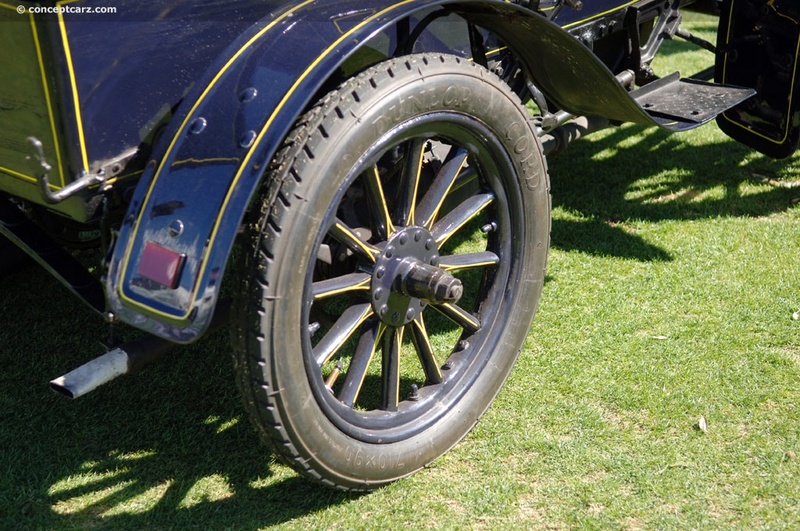 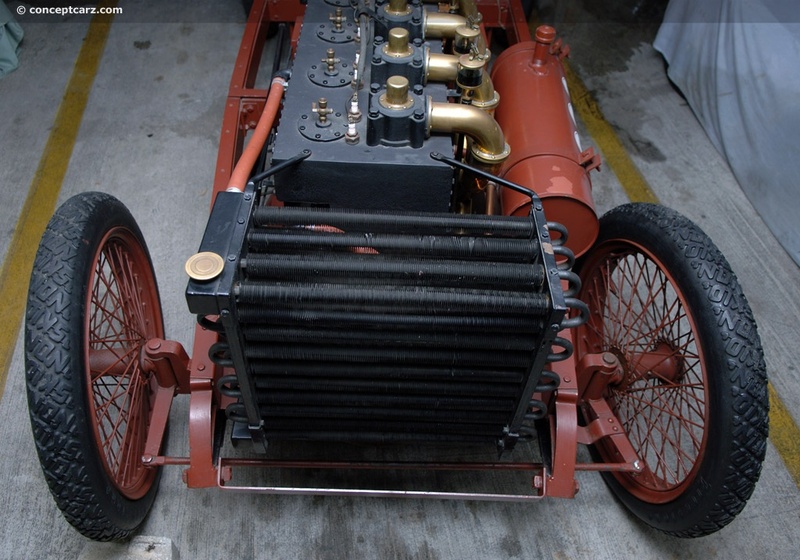 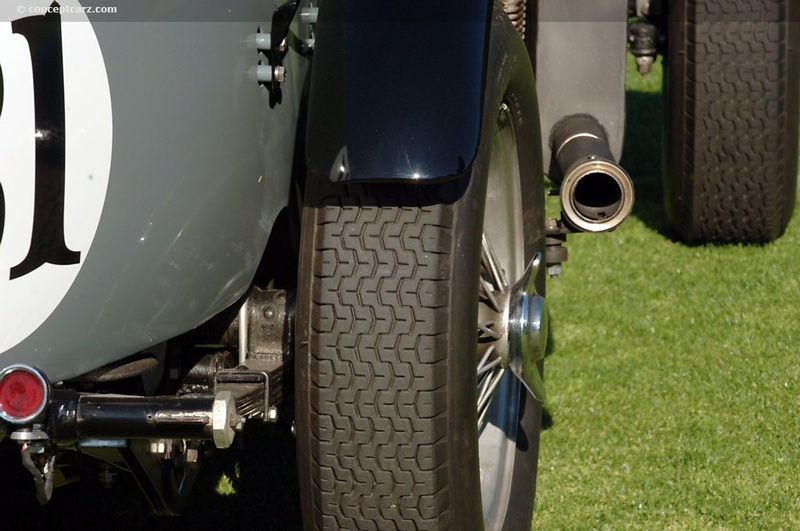 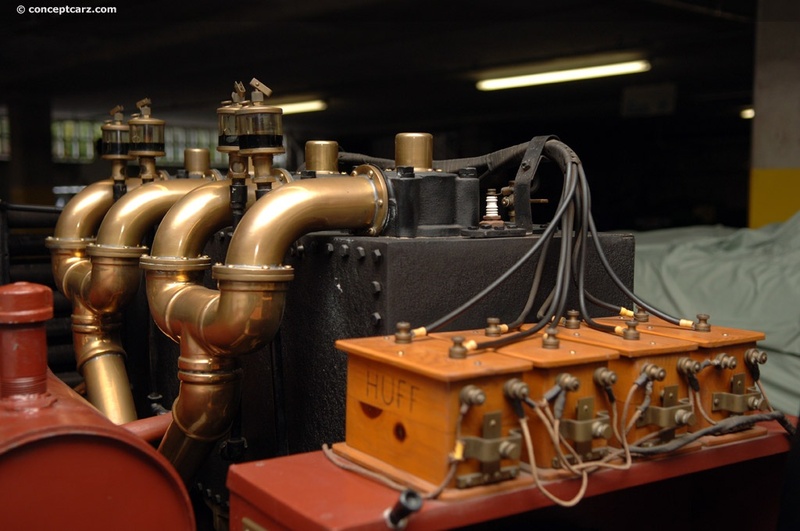 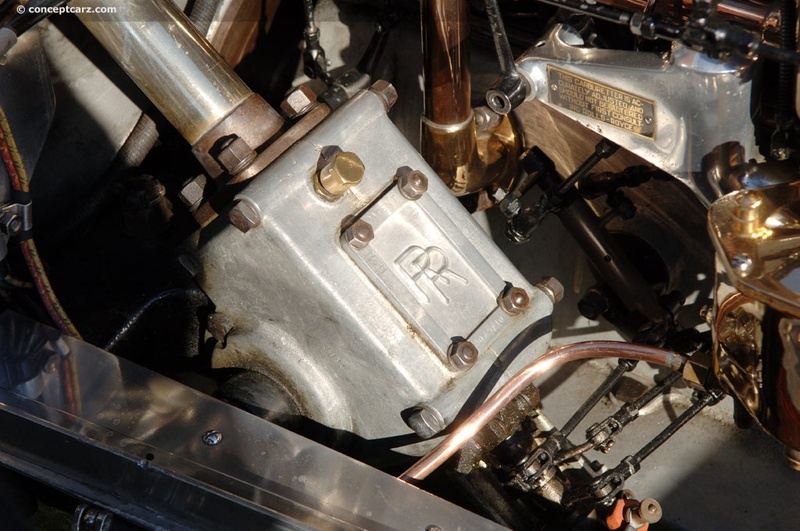 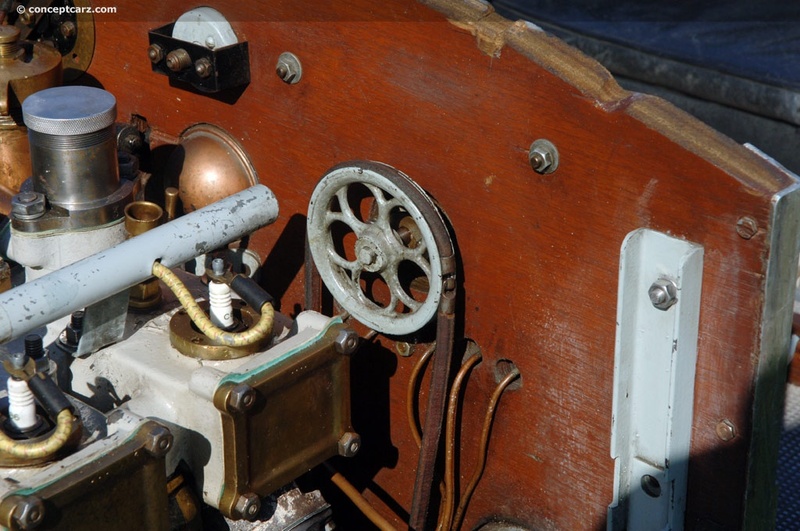 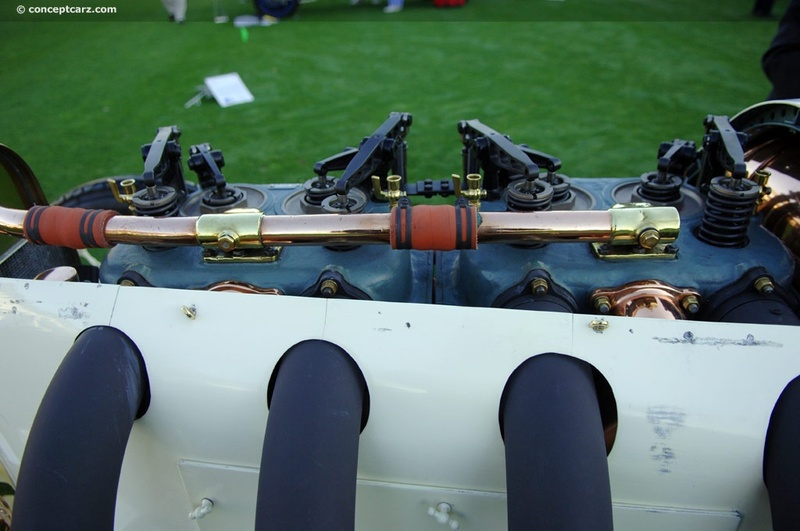 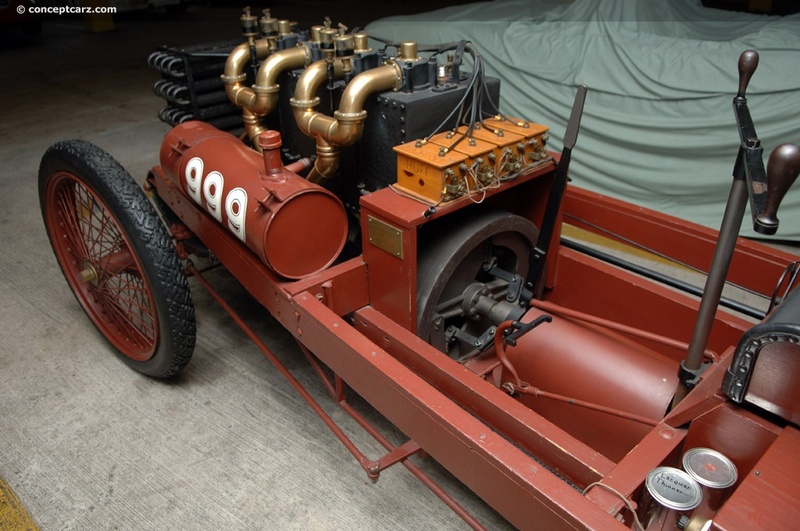 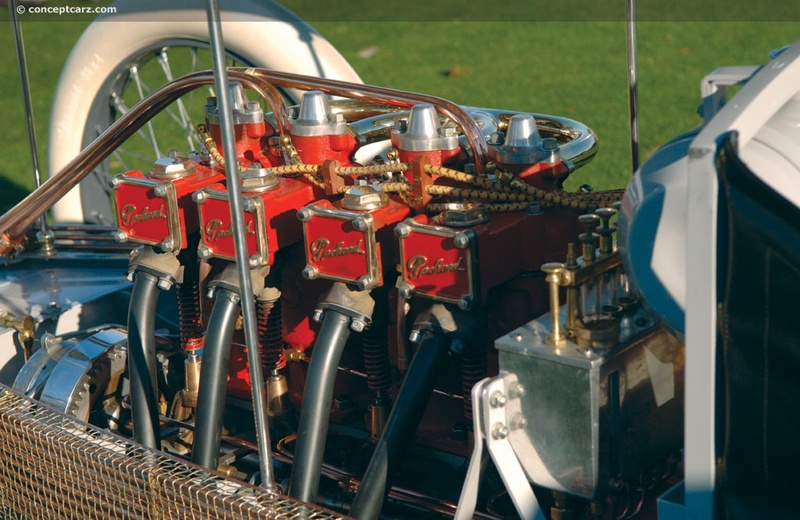 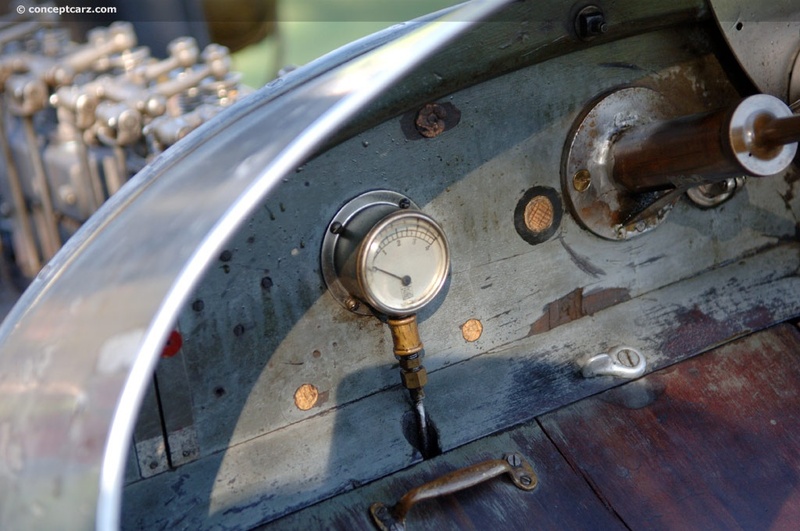 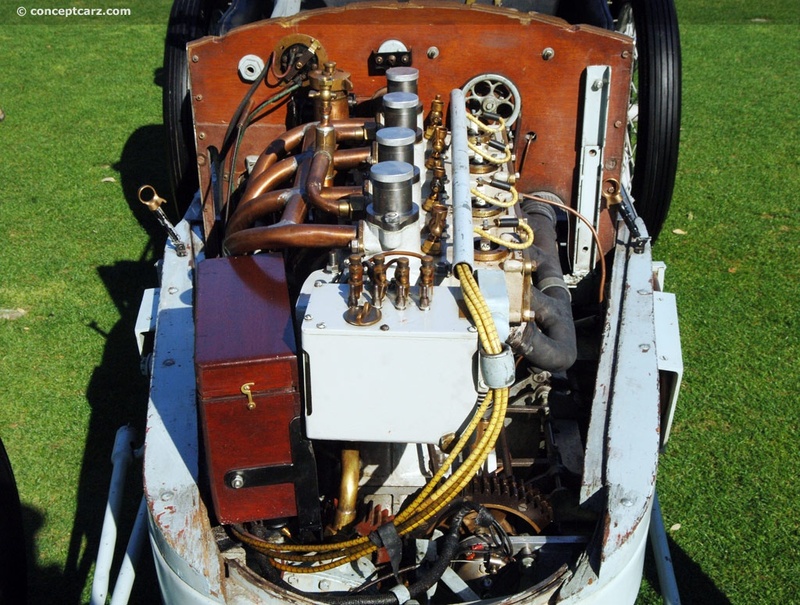 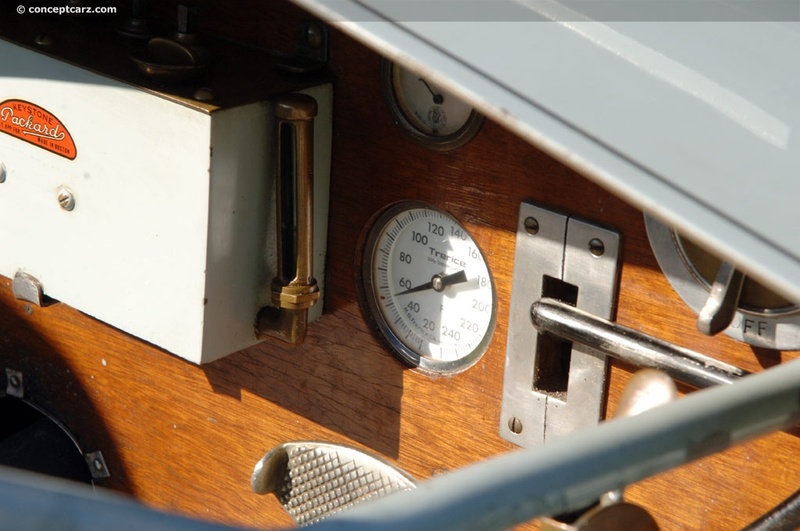 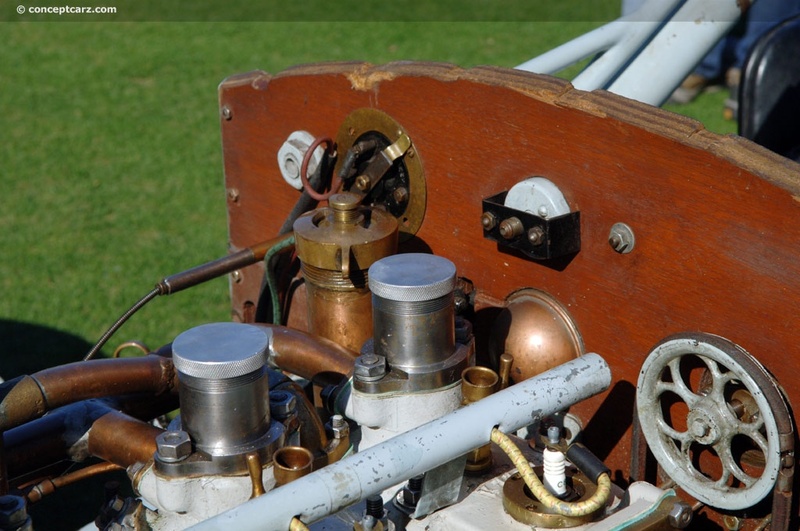 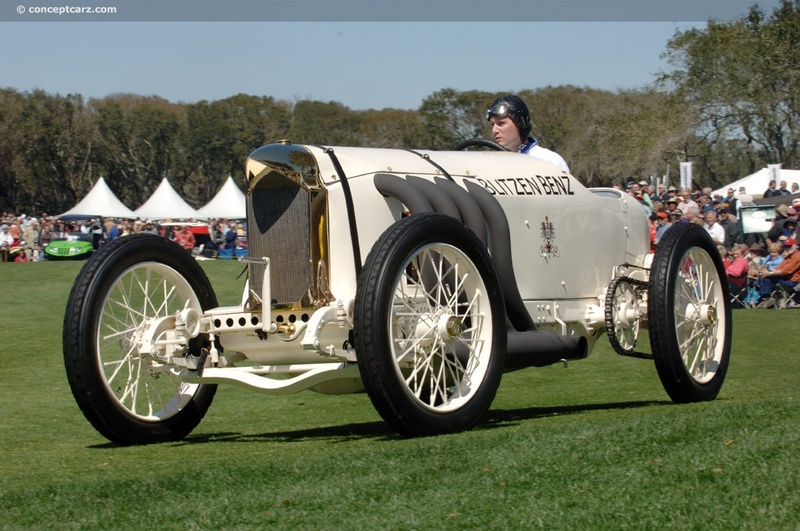 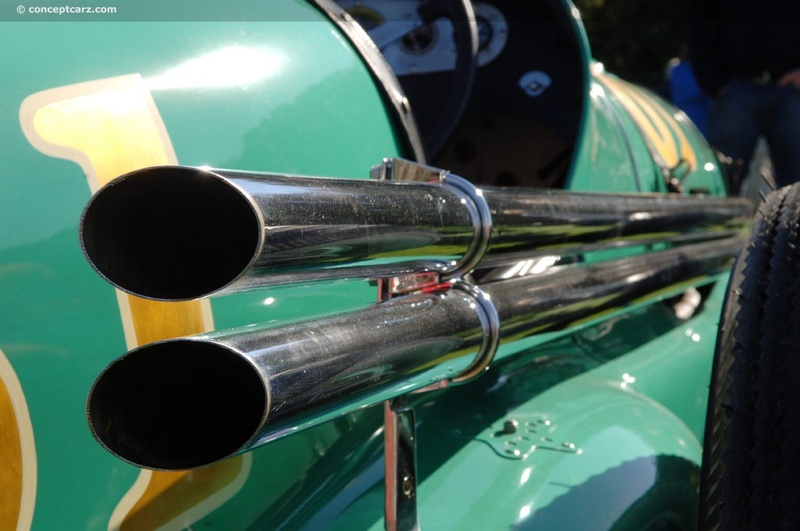 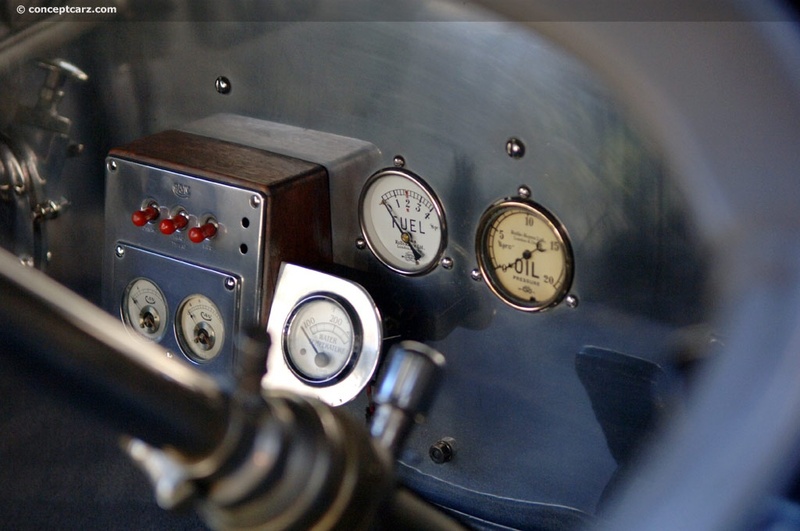 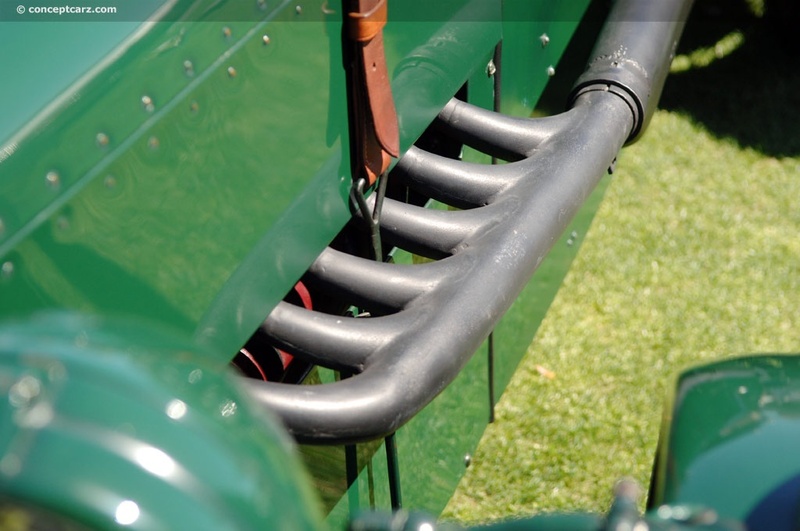 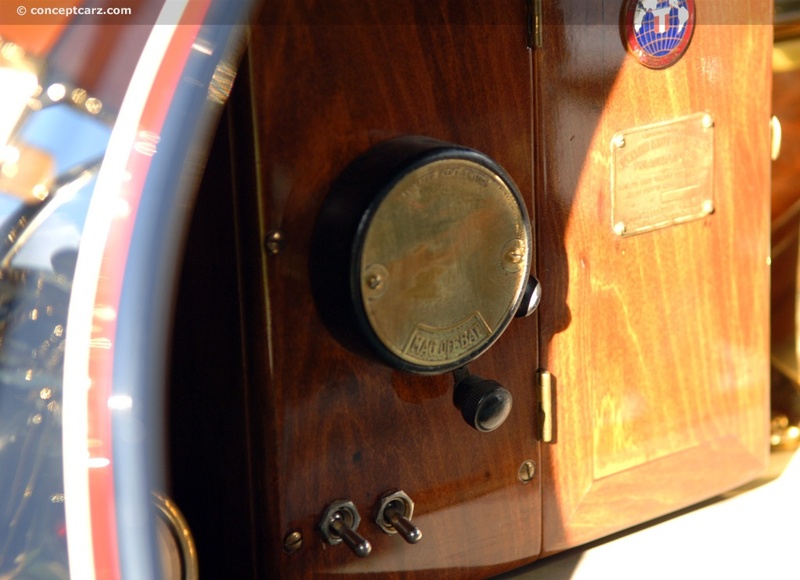 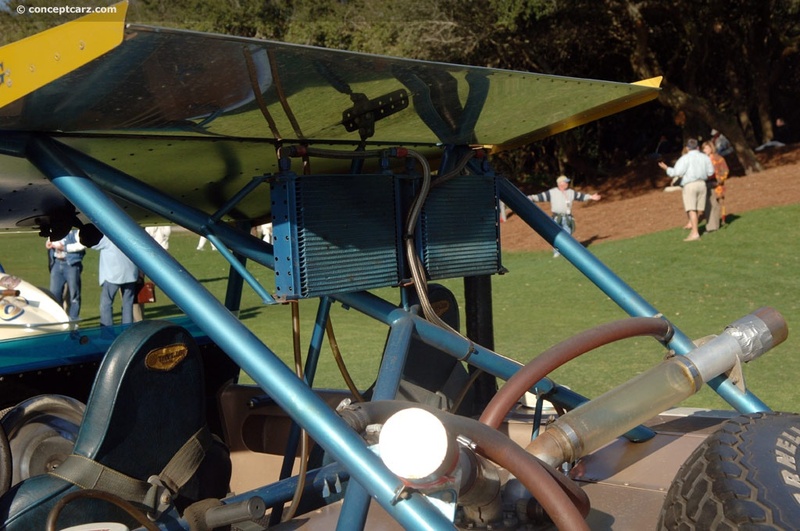 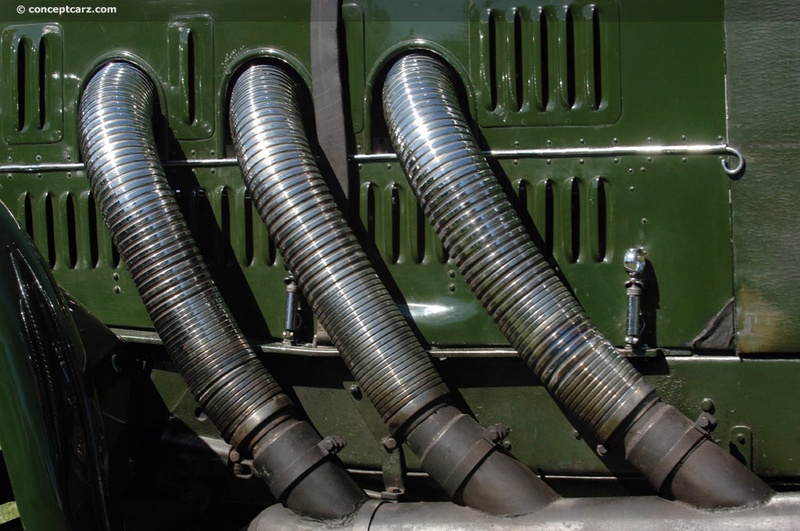 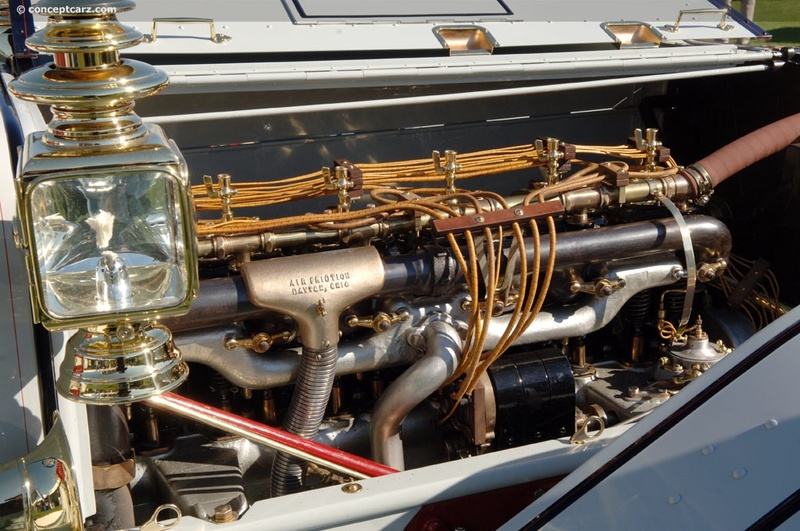 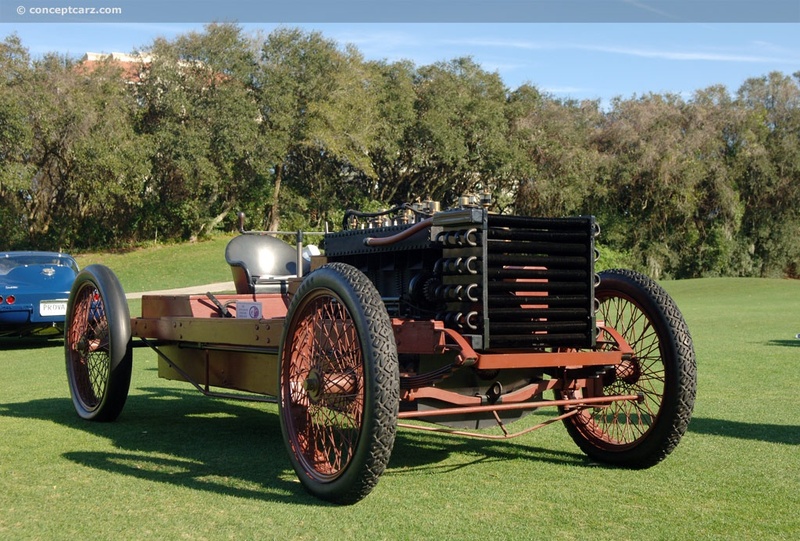 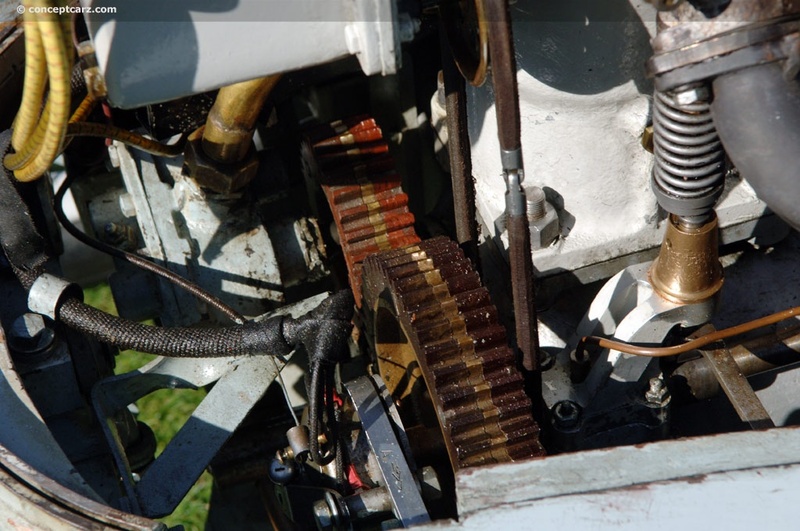 By 1905 a Napier with 90-horsepower at its disposal had raised the land speed record to 104.6 mph. 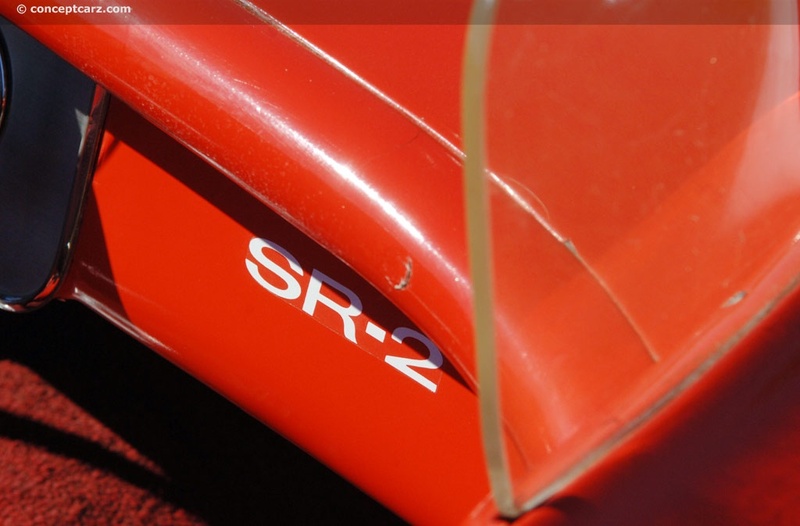 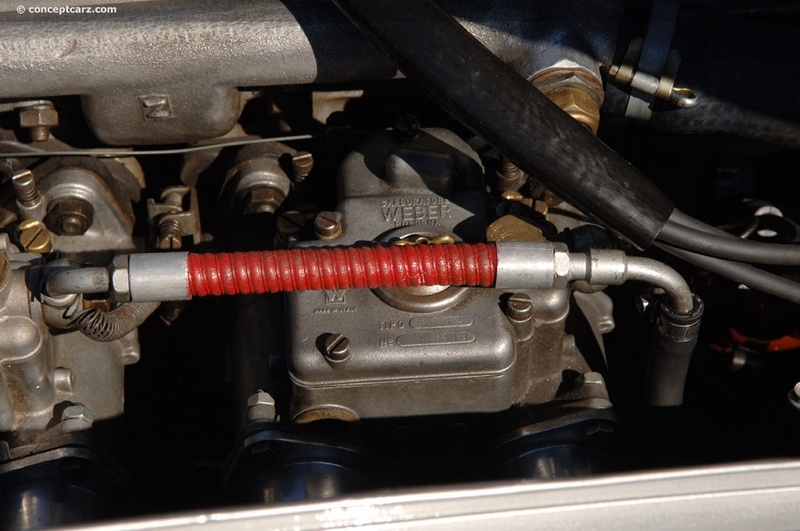 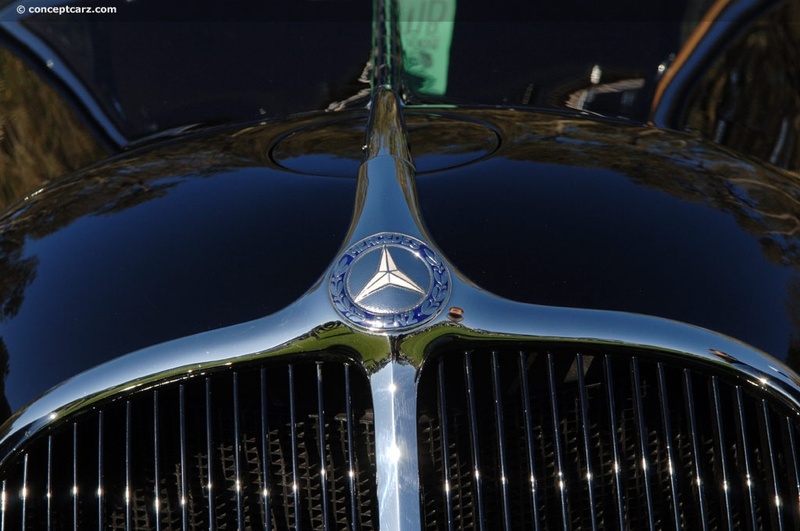 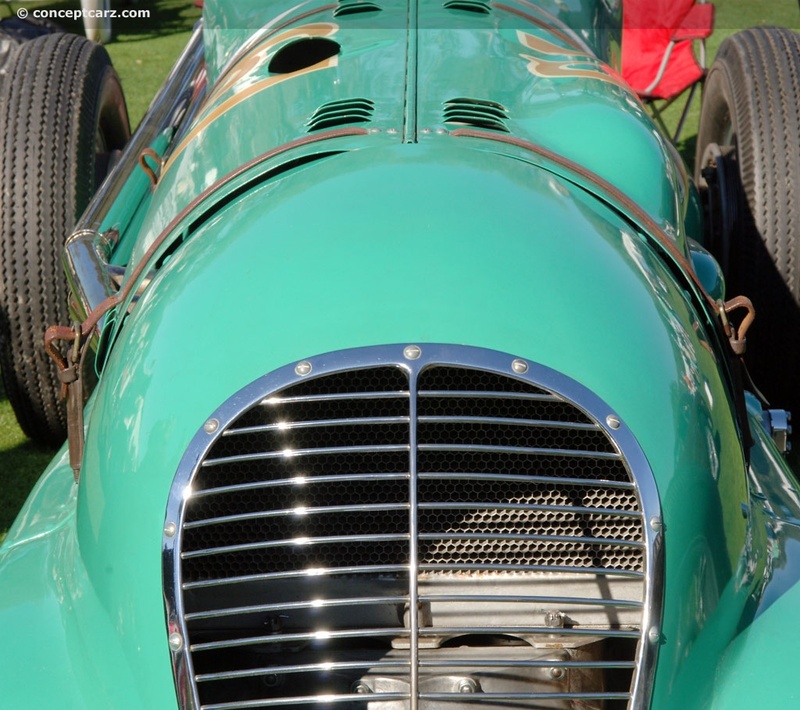 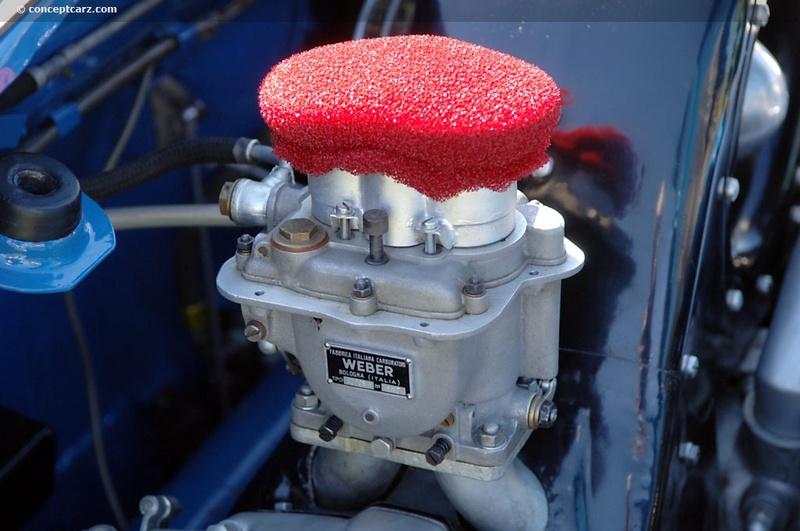 The following year a 250-horsepower Mercedes, along with many other race-worthy machines, came to contest the record. 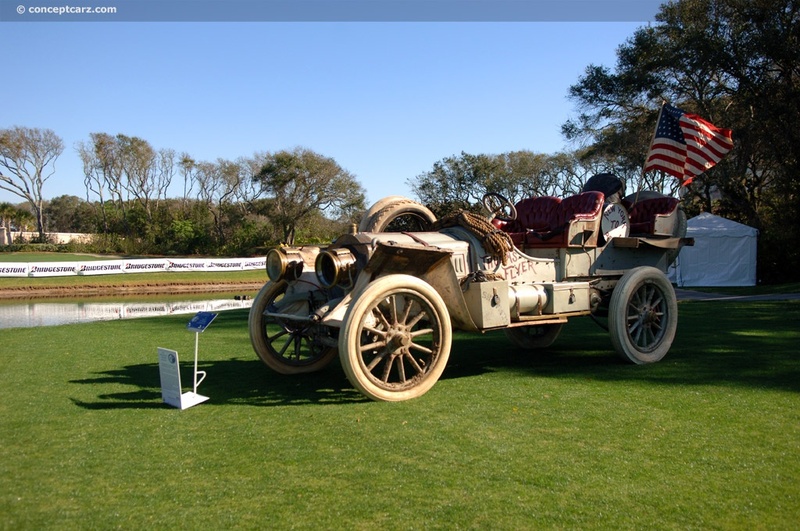 Also on hand was a steam powered car built by the Stanley brothers. 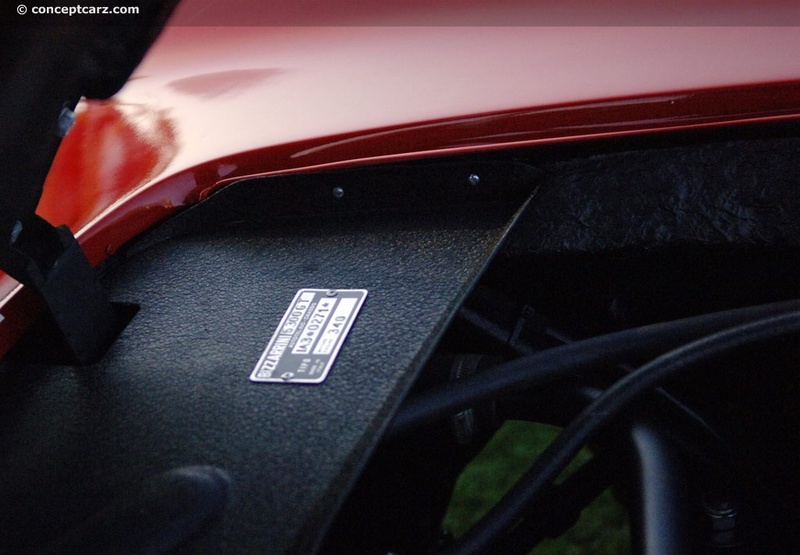 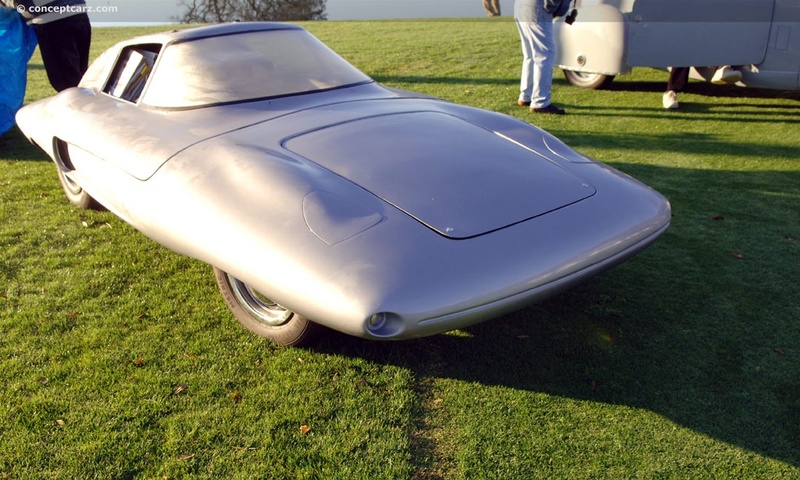 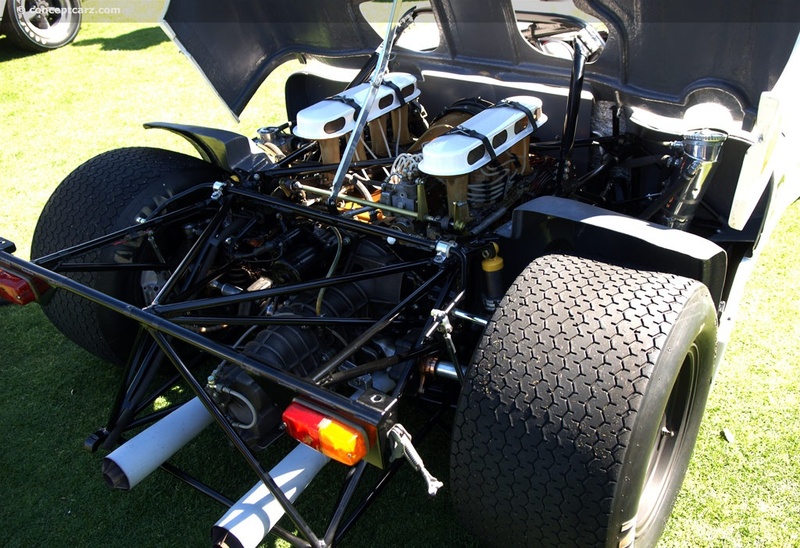 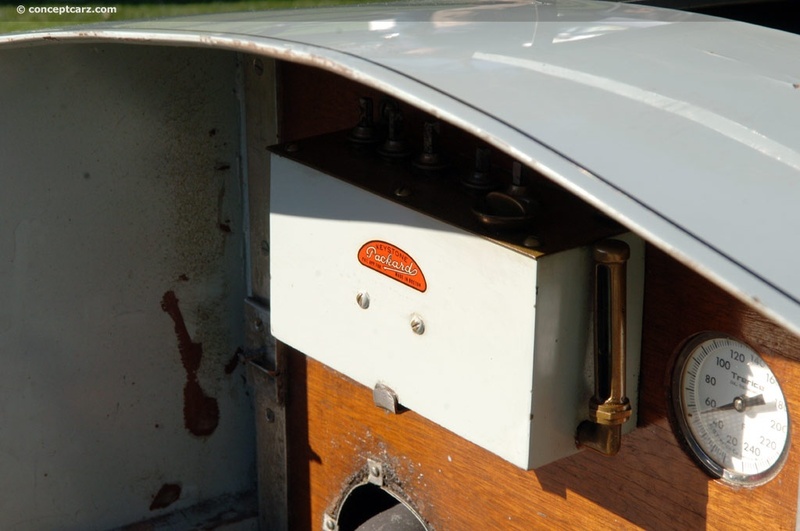 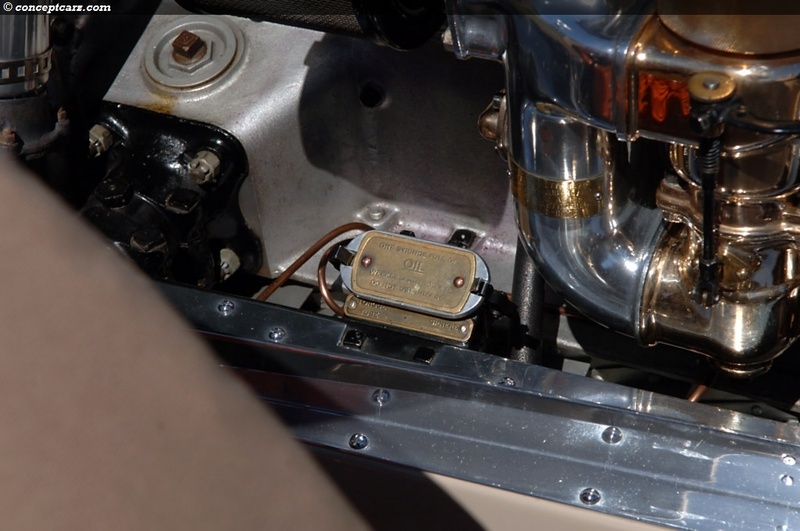 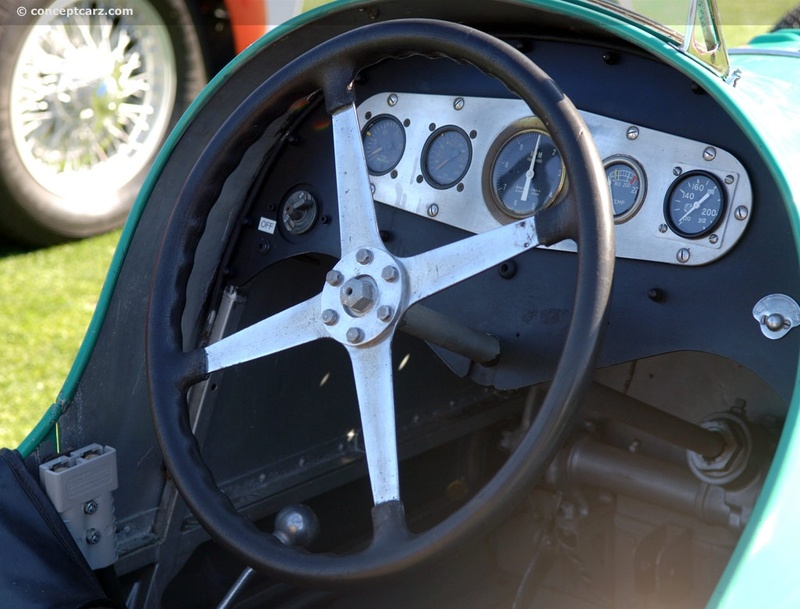 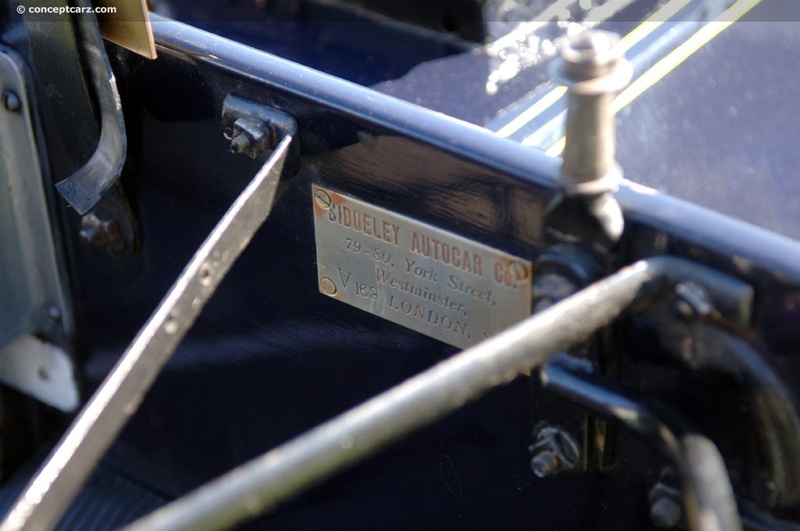 To much amazement, the Stanley car obtained an untouchable speed of 127.6 mph. 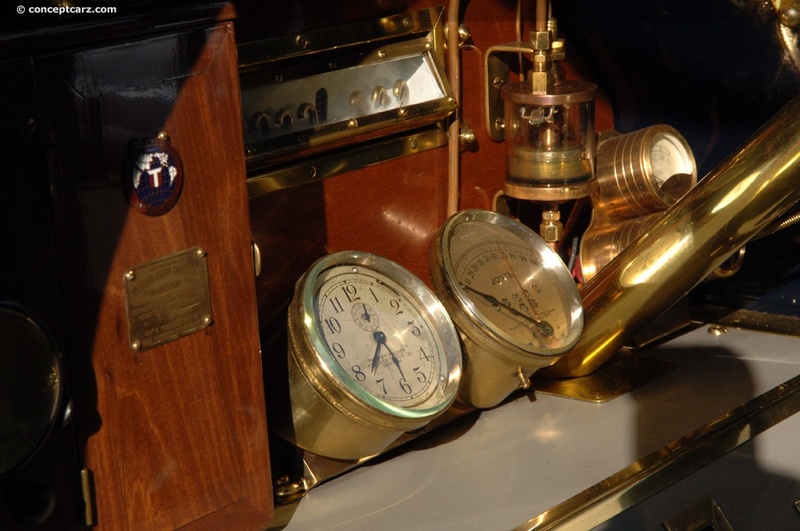 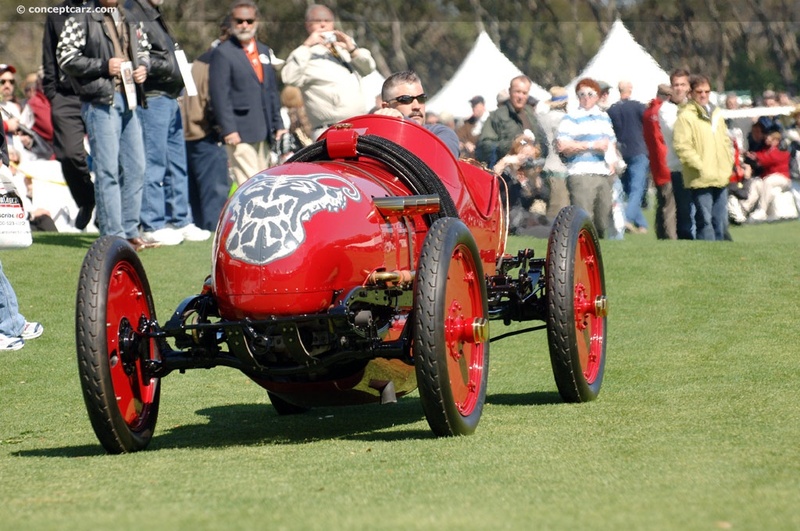 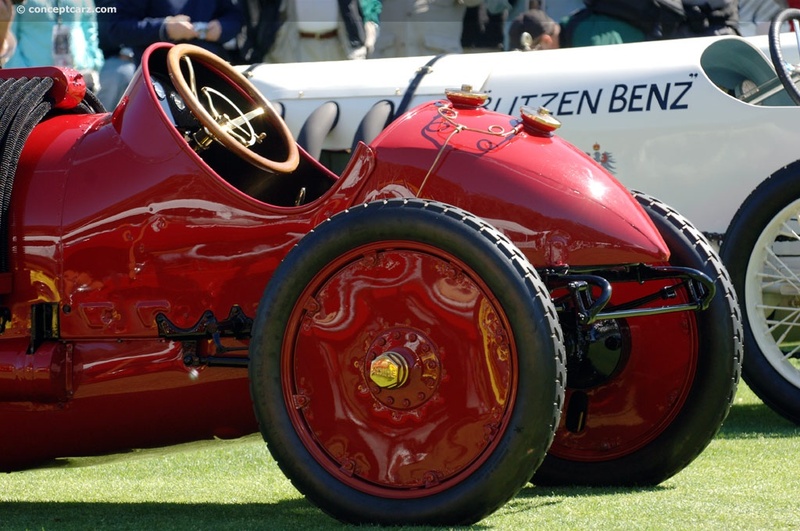 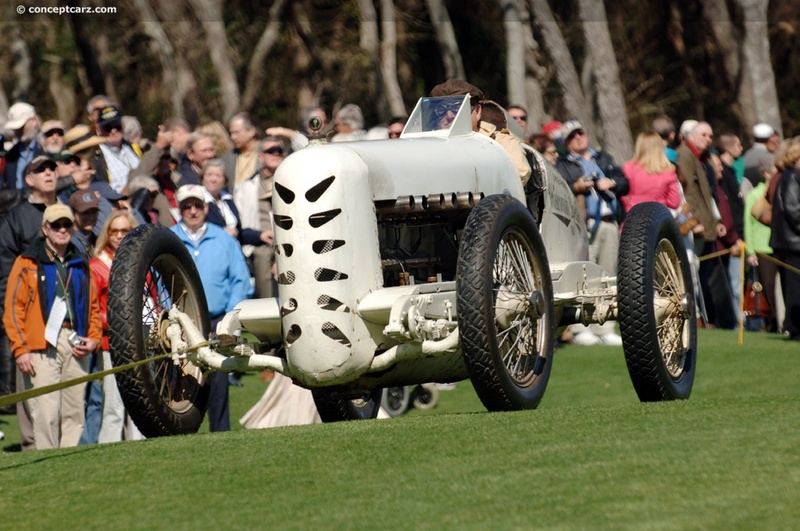 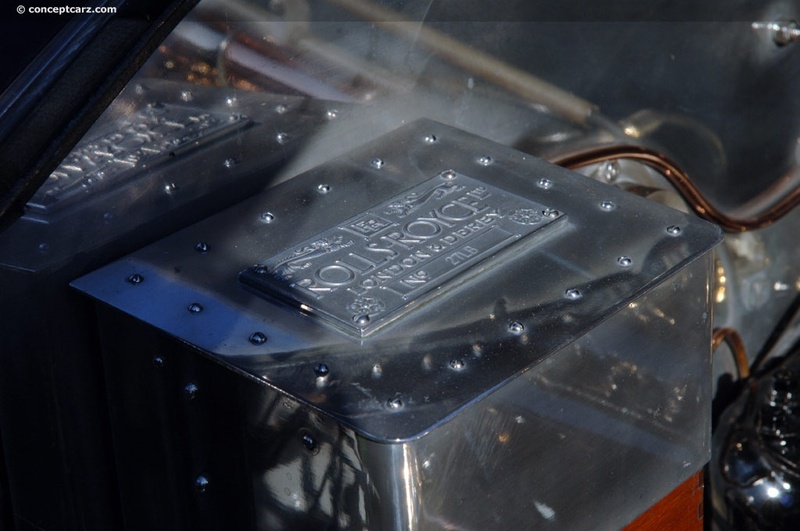 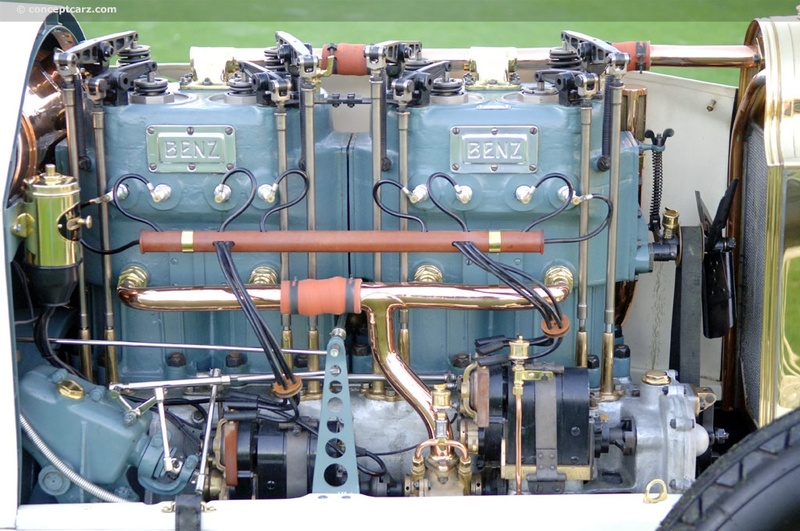 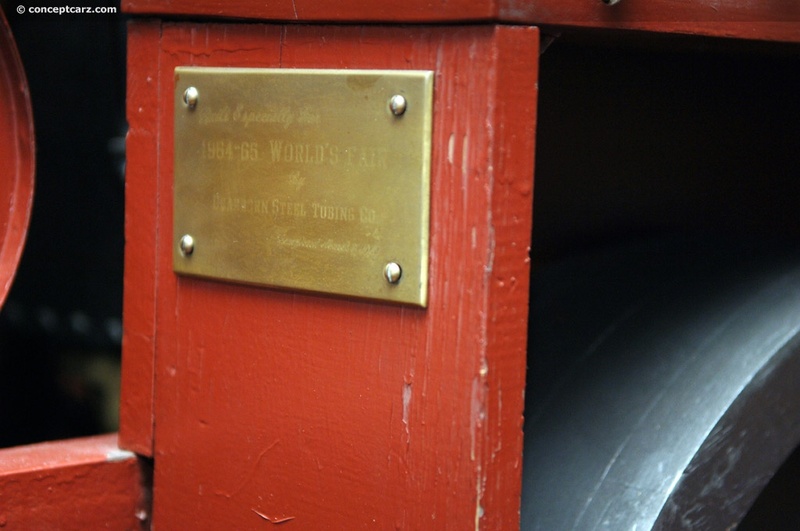 The record stood until 1910 when it was broken by the 200-horsepower Blitzen Benz at 131.72 mph. 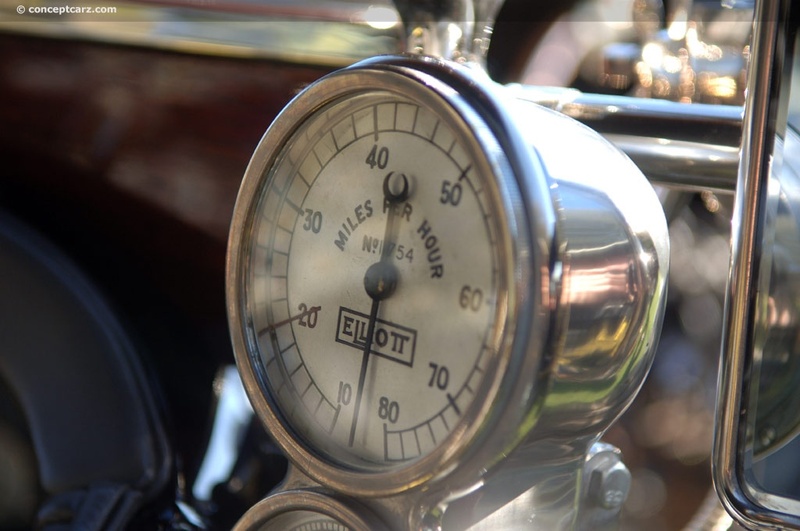 The record would continue to rise, surpassing the 200 mph mark, and over 250 during the 1930s. 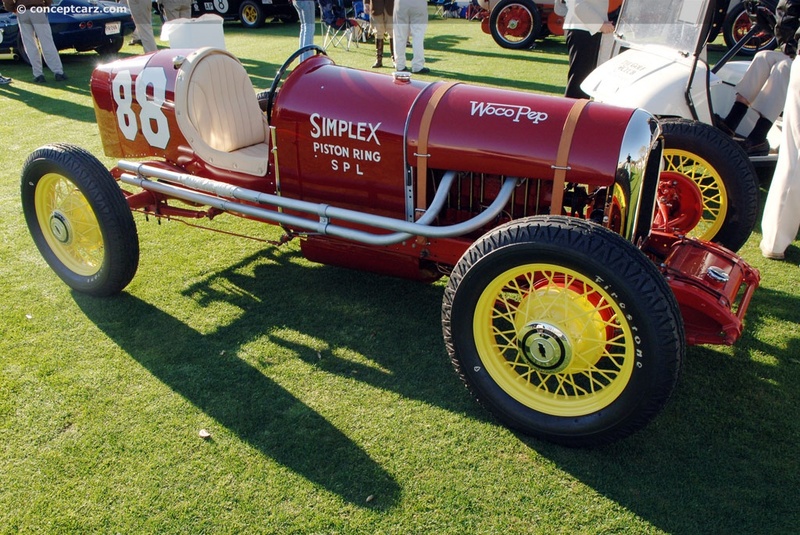 By now, it was just too dangerous to race on the sand, so the racers moved inland, finding a suitable location at the Salt Flats in Utah. 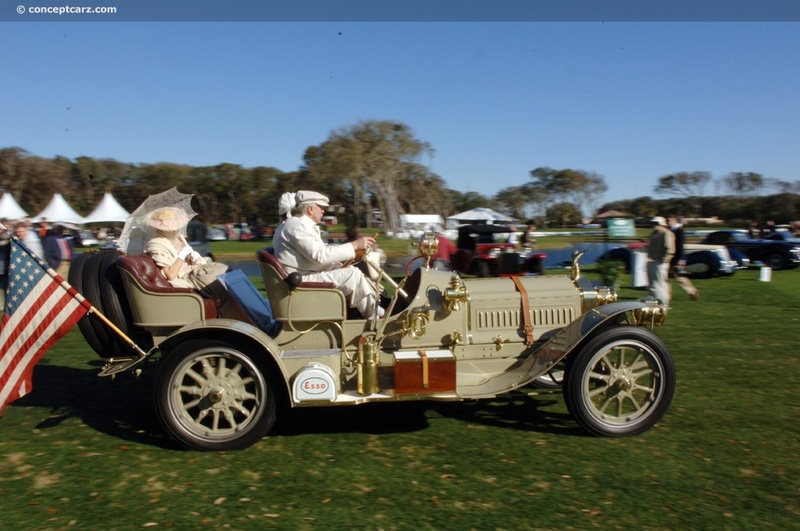 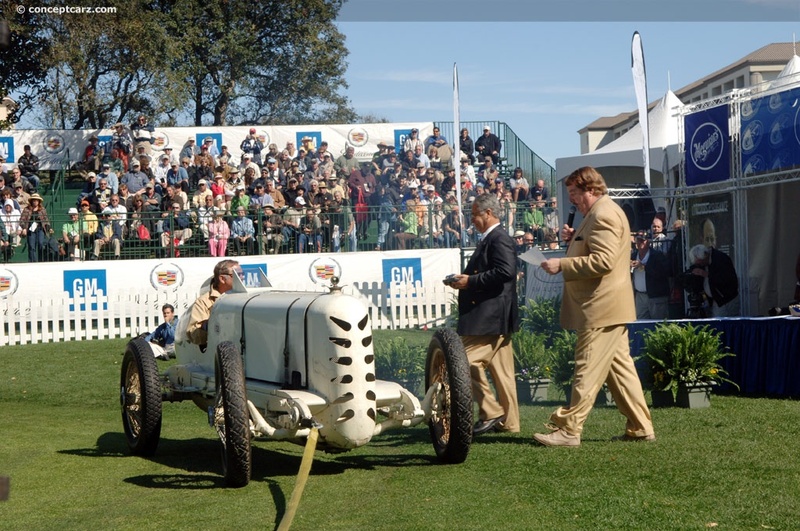 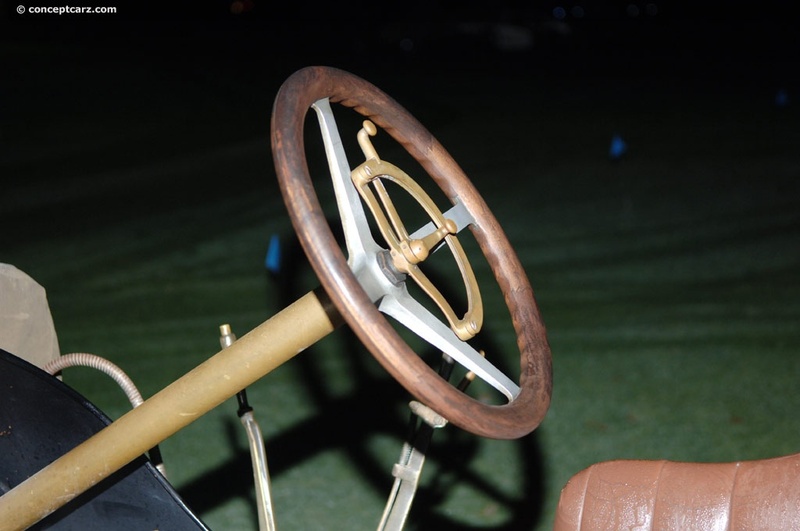 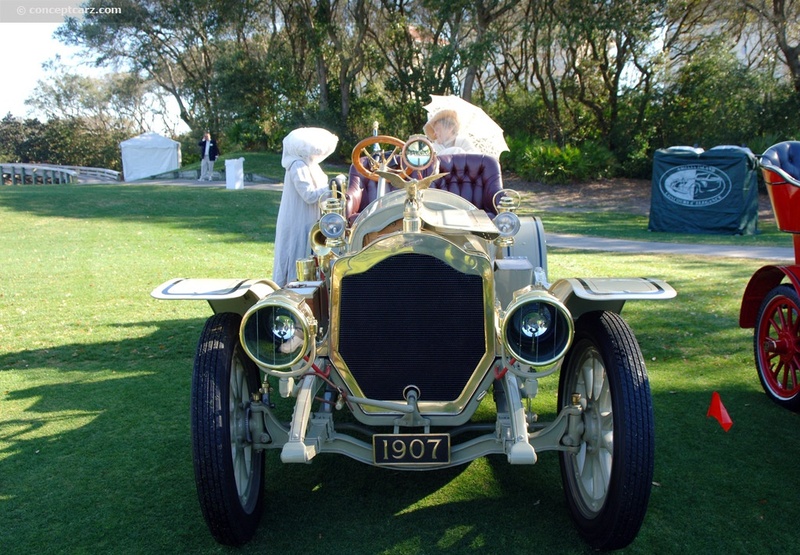 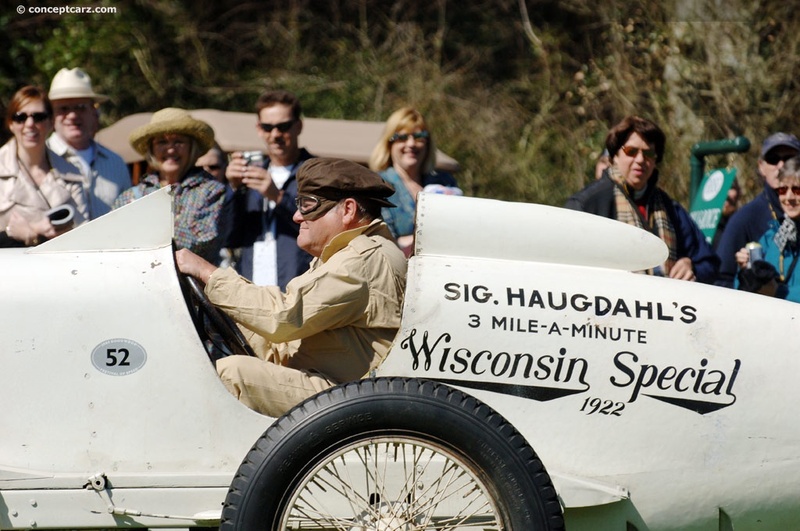 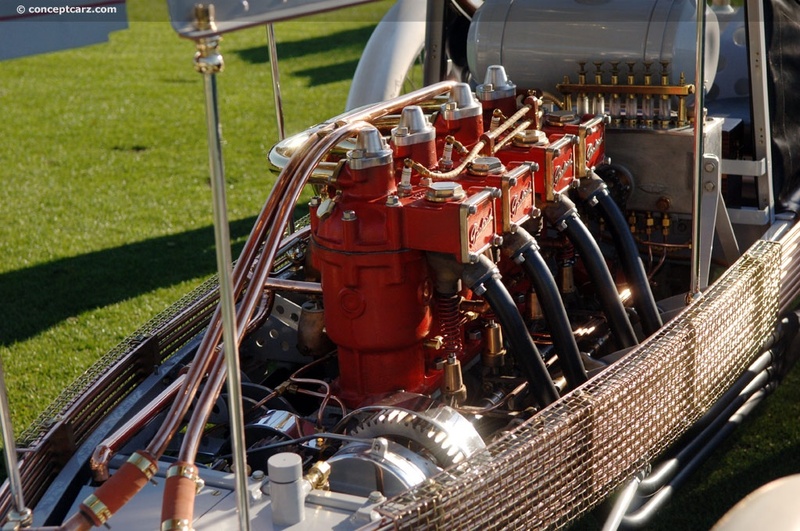 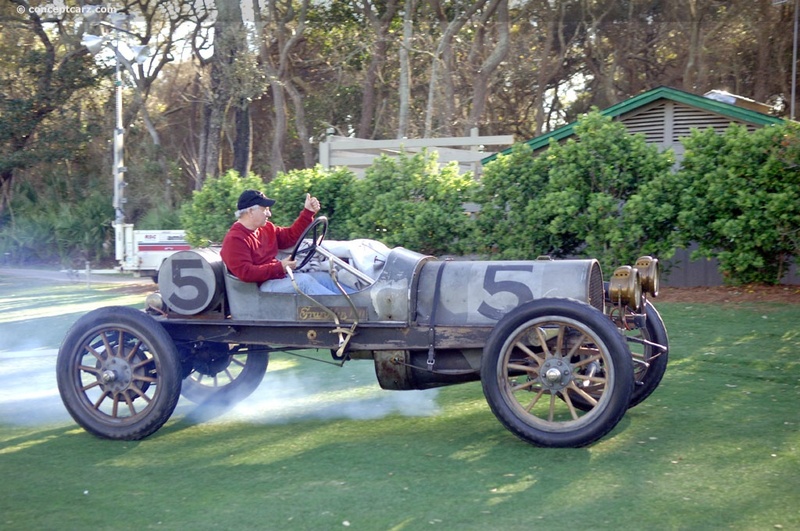 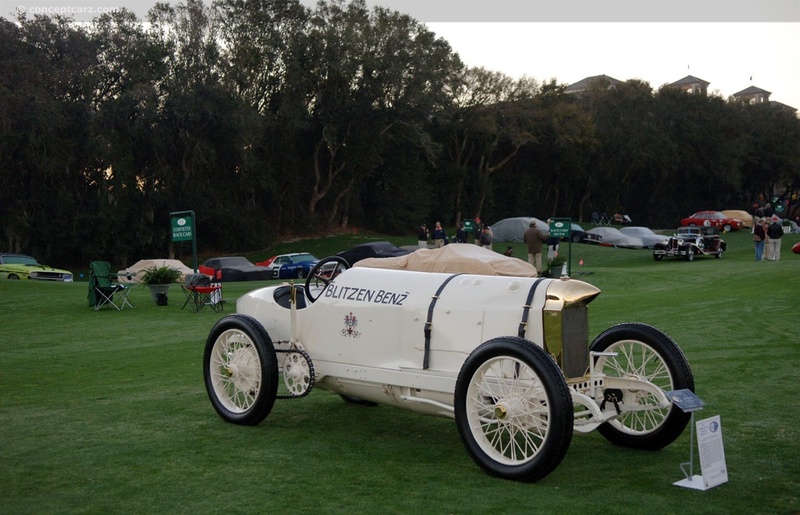 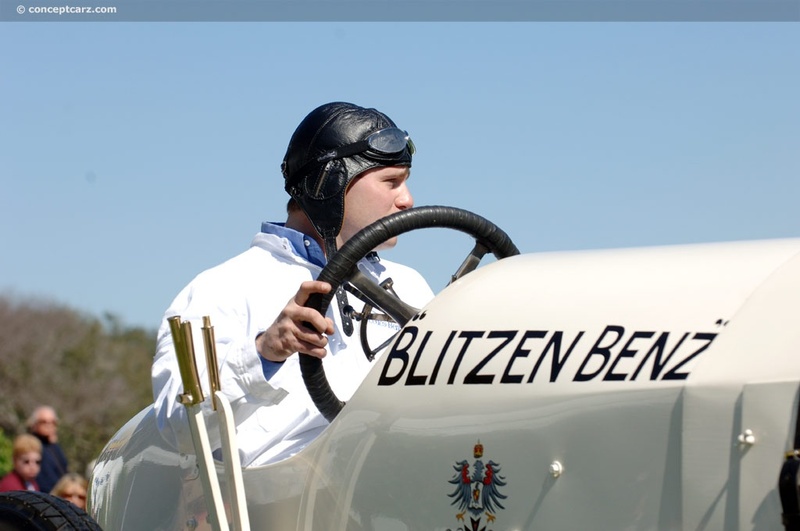 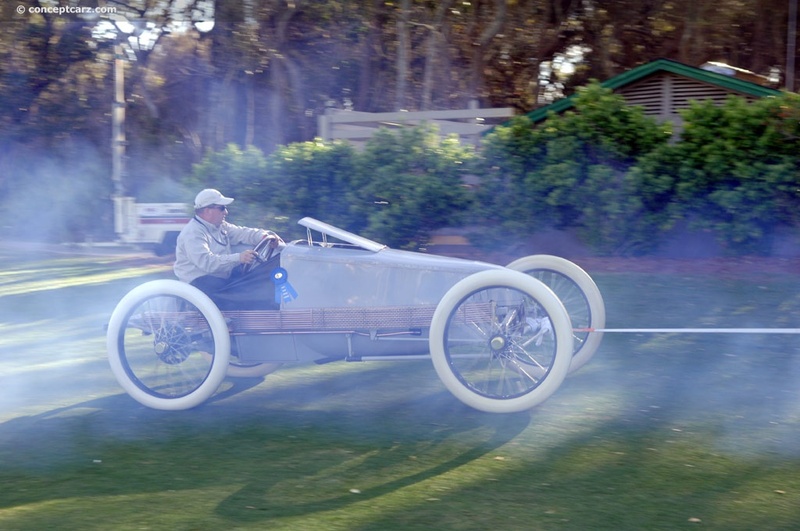 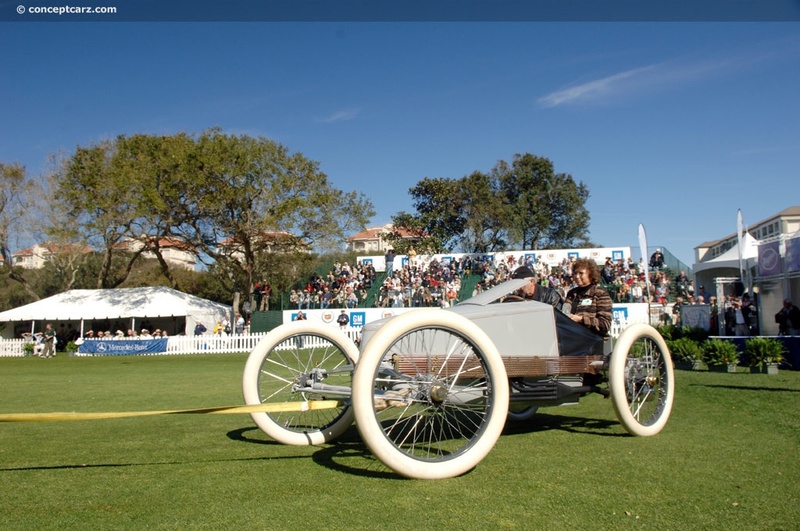 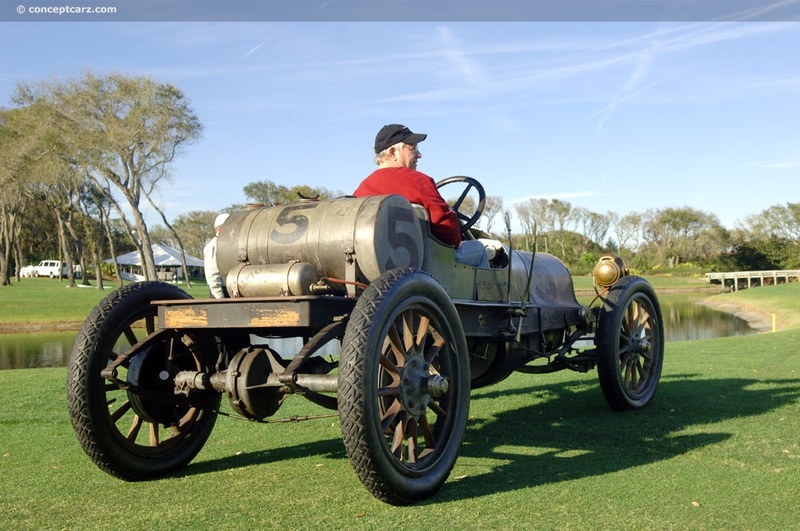 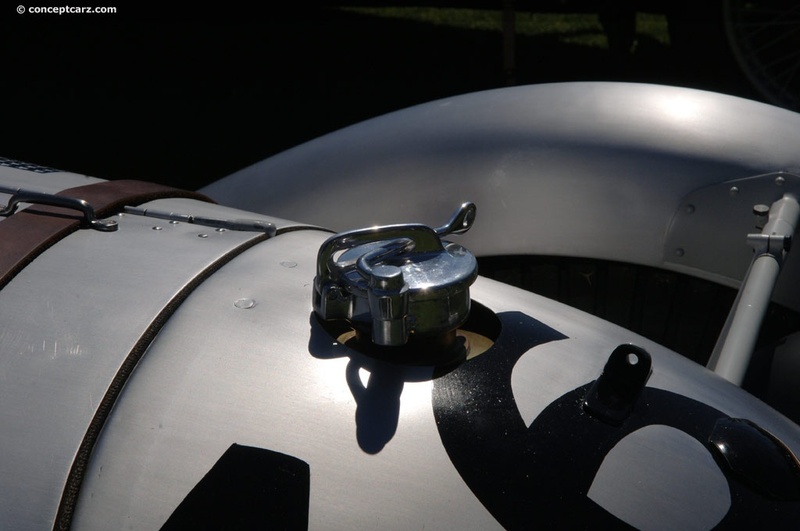 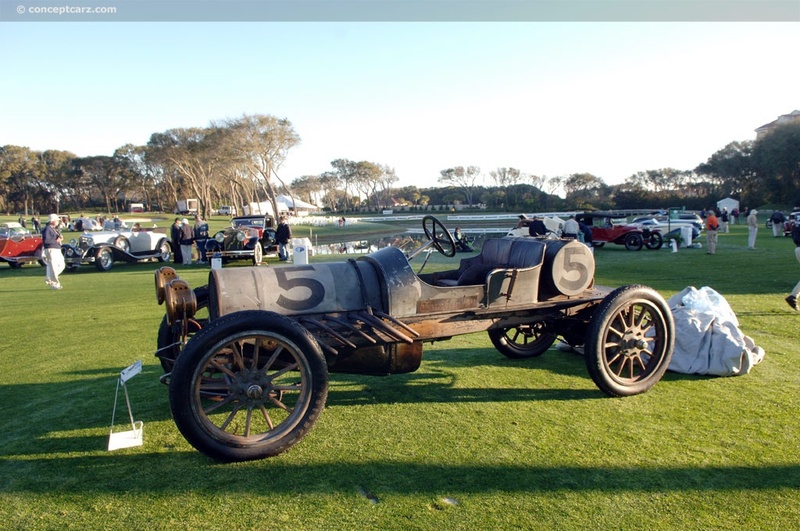 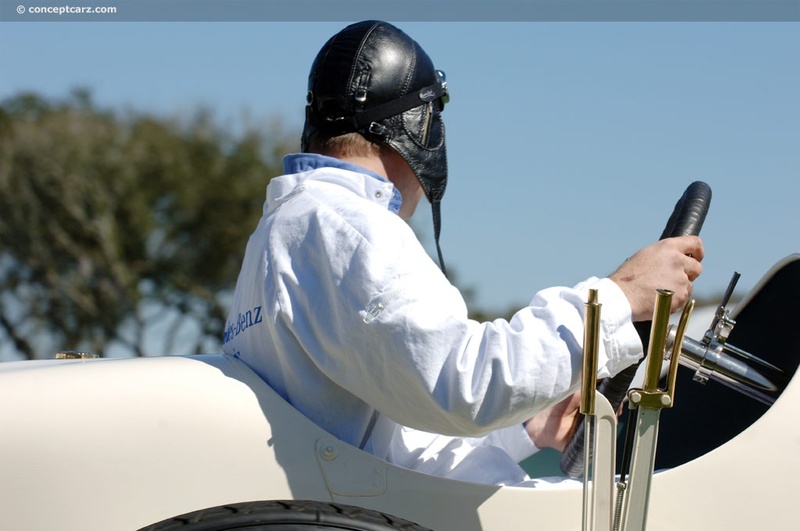 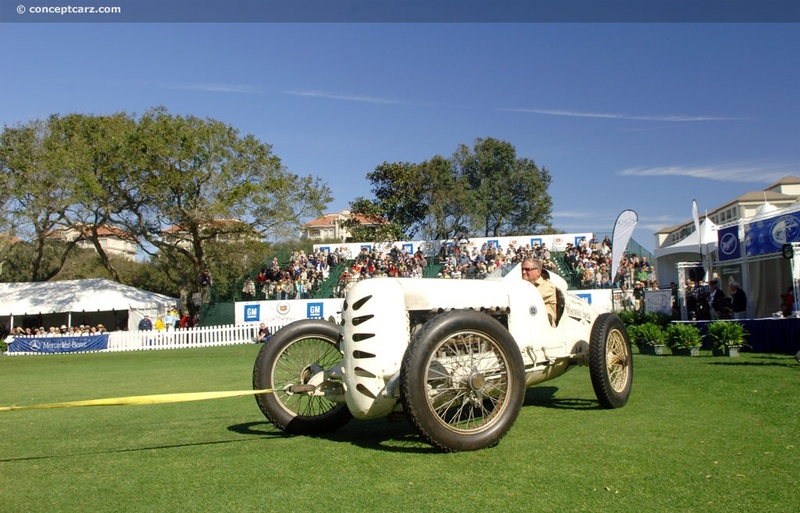 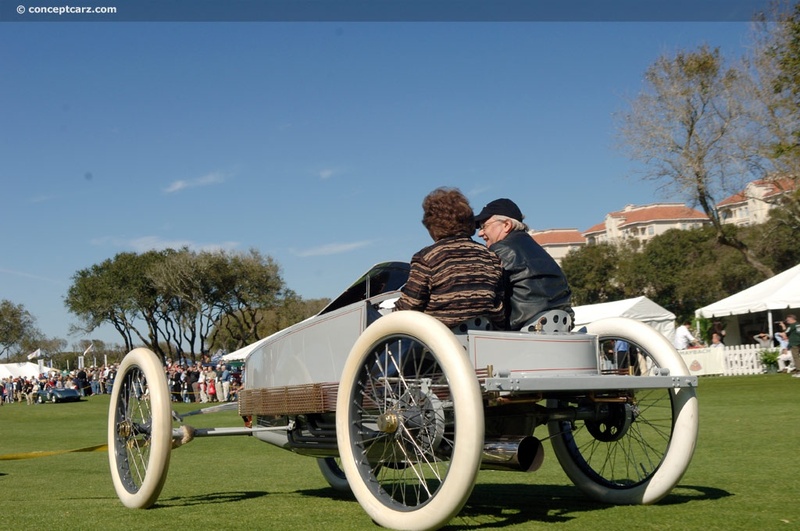 The Blitzen Benz and several other beach racers were at Amelia this year to celebrate the accomplishments of those brave individuals who risked their lives to be included in the record books. 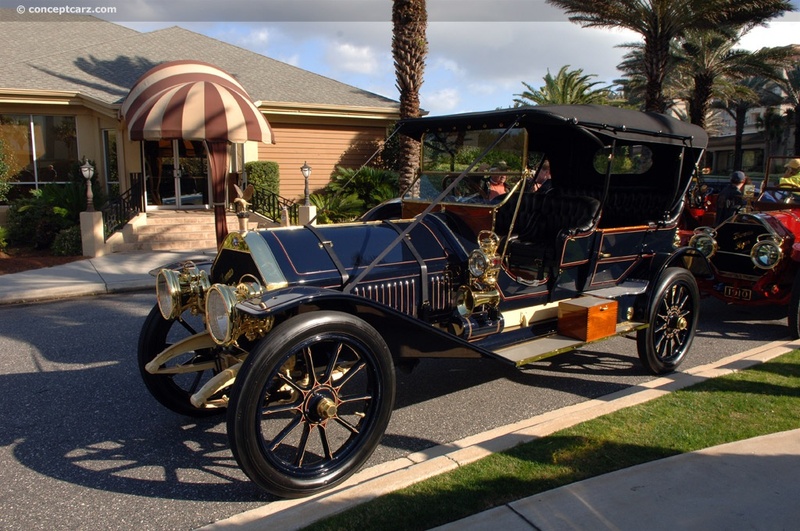 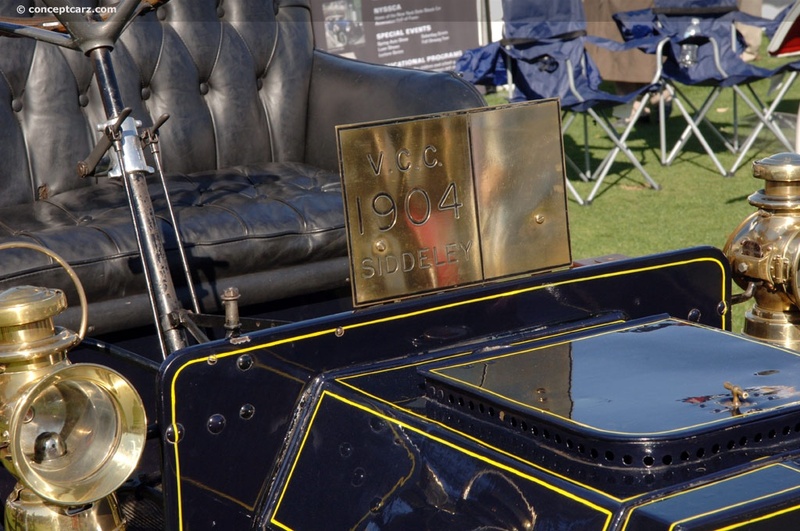 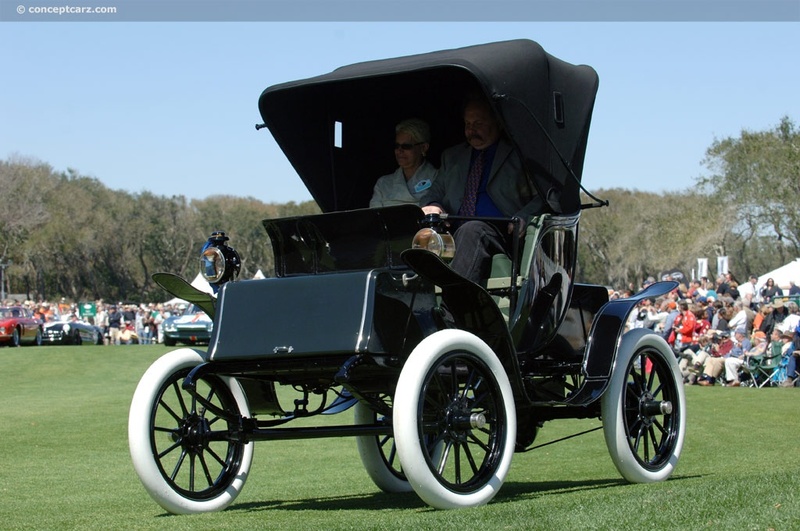 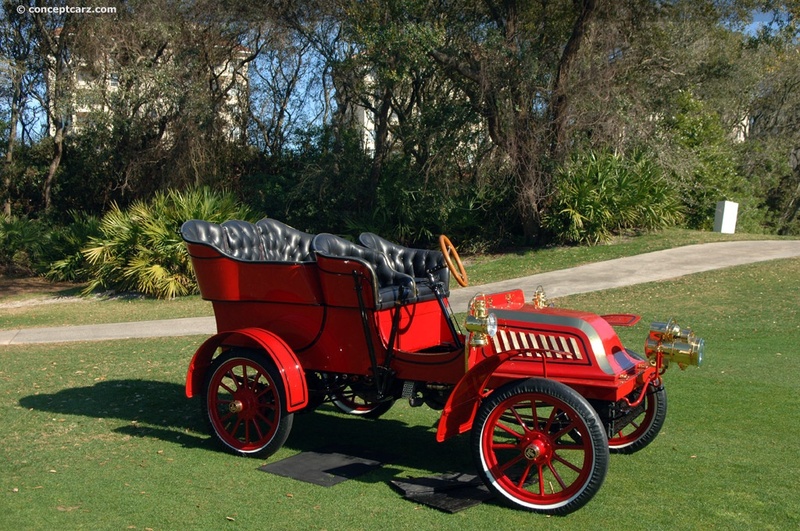 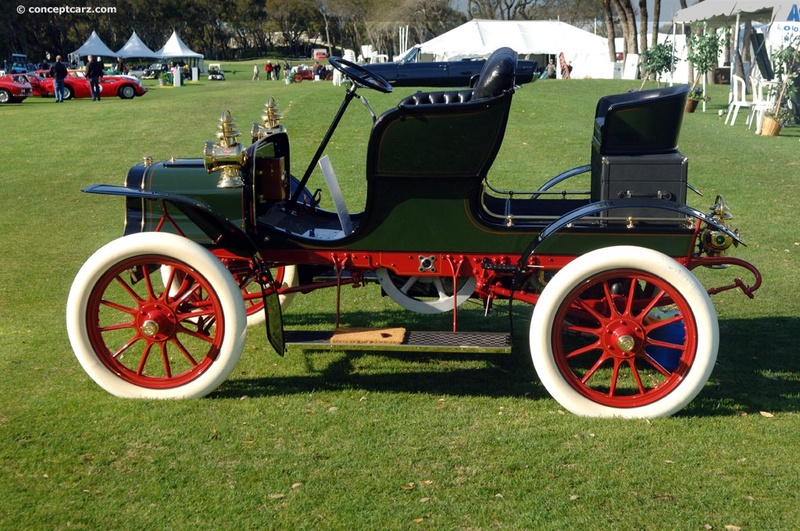 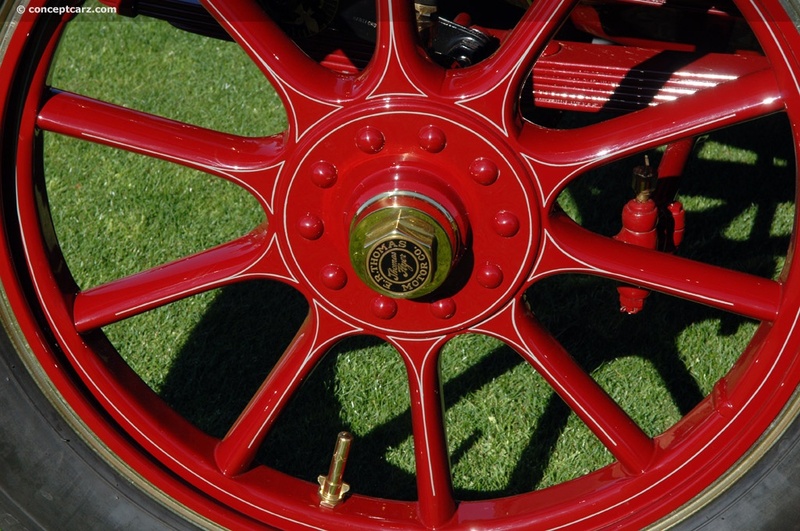 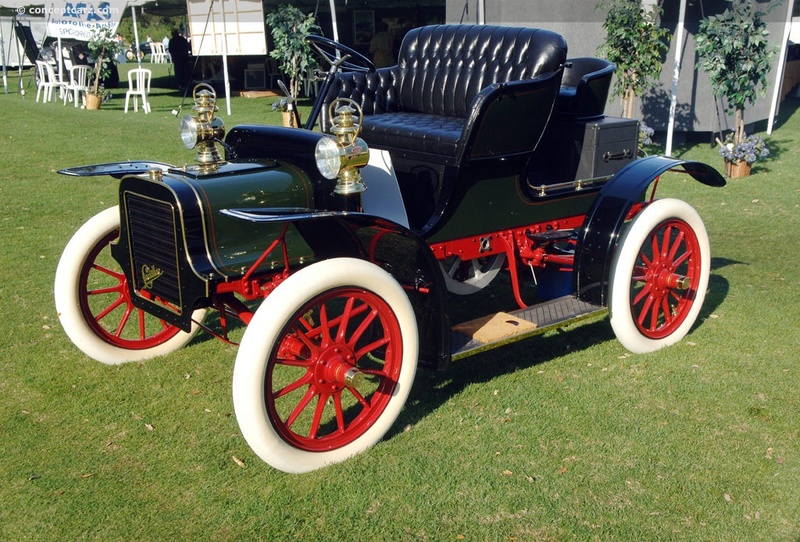 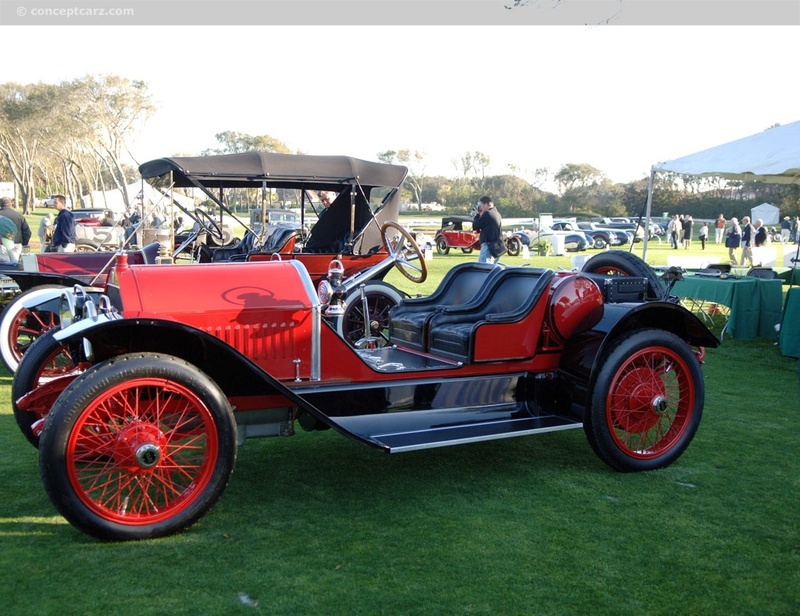 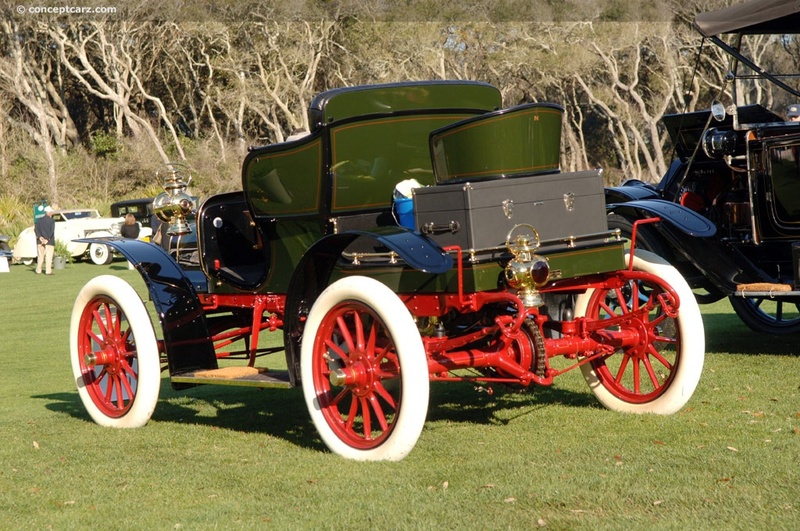 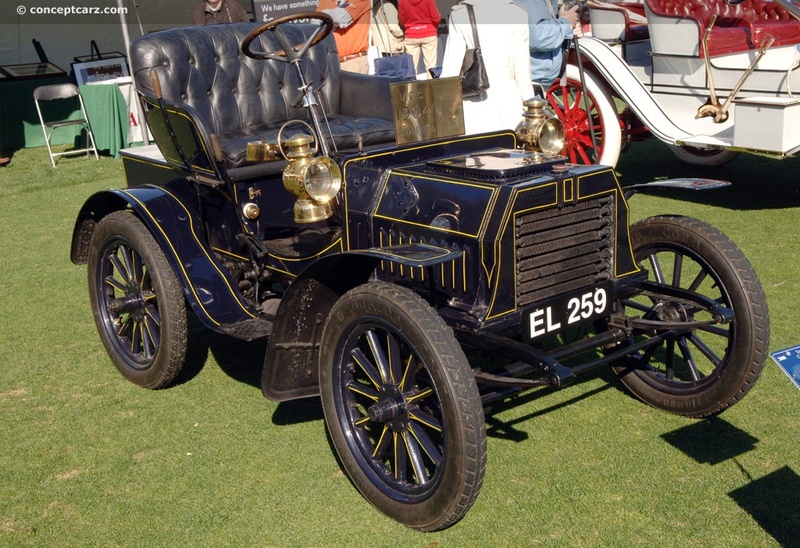 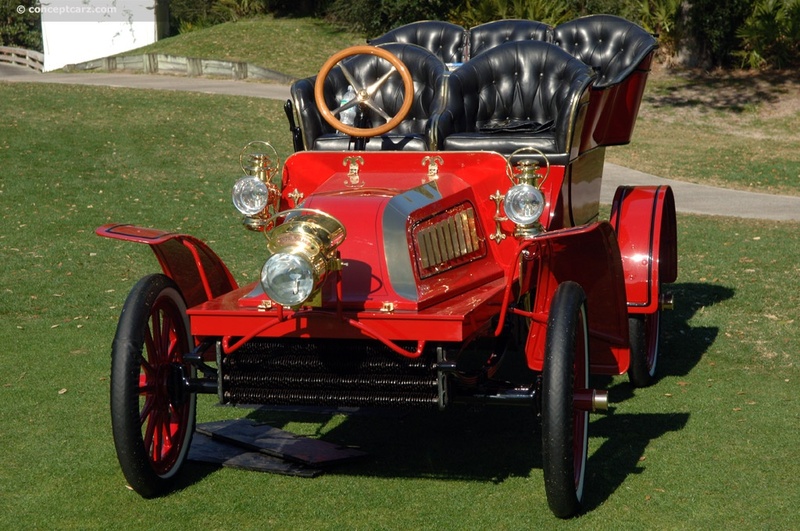 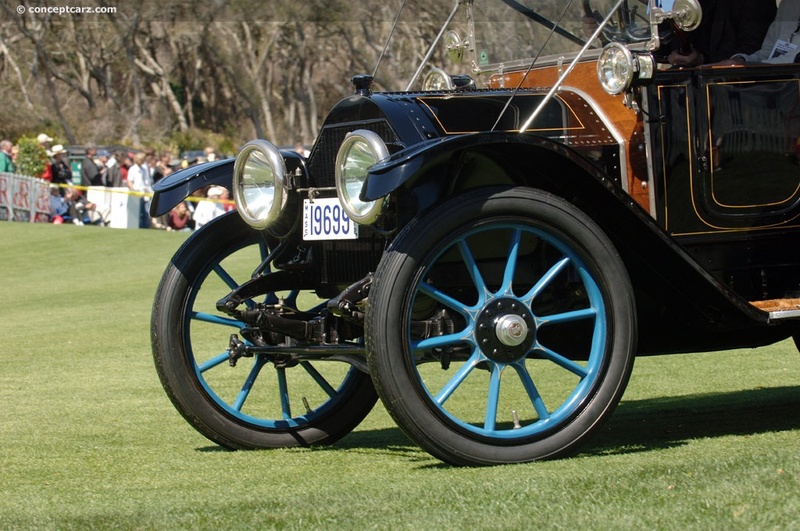 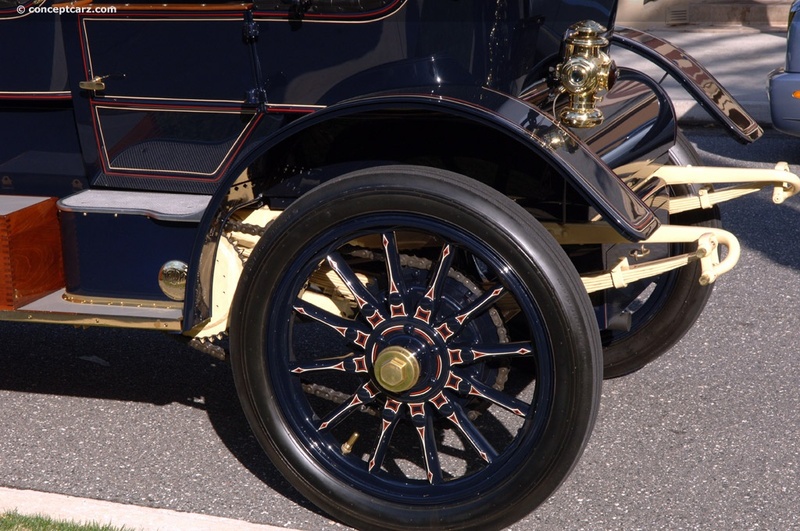 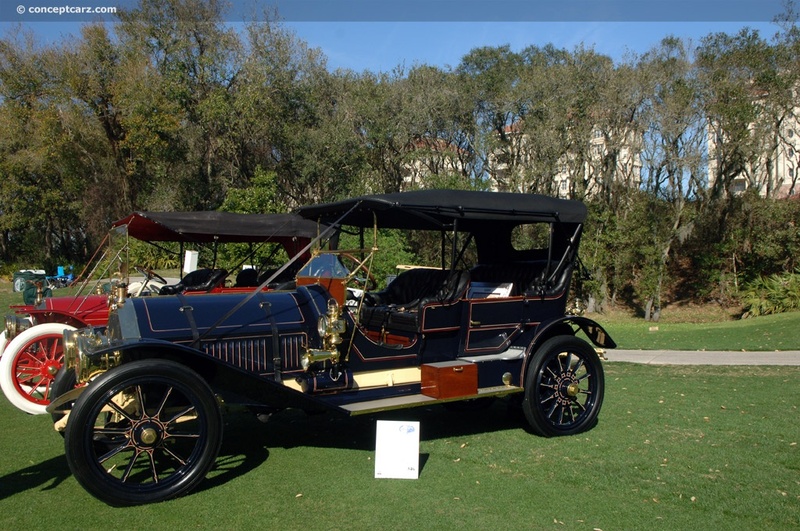 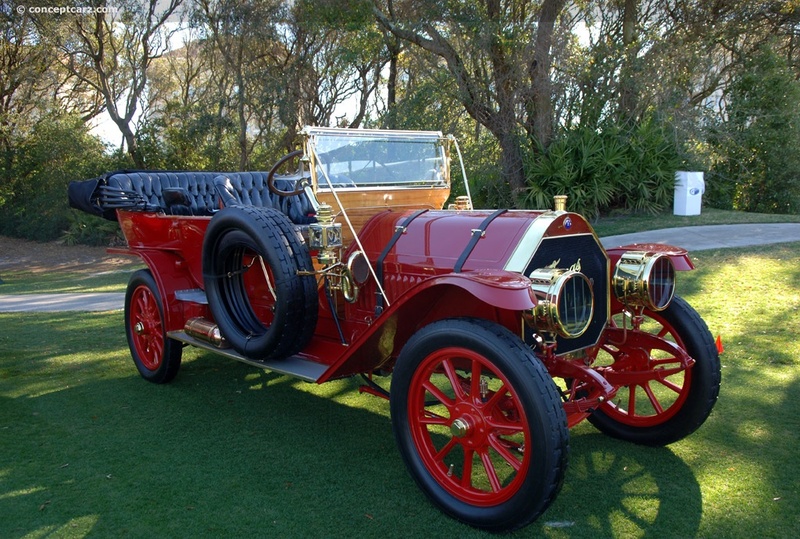 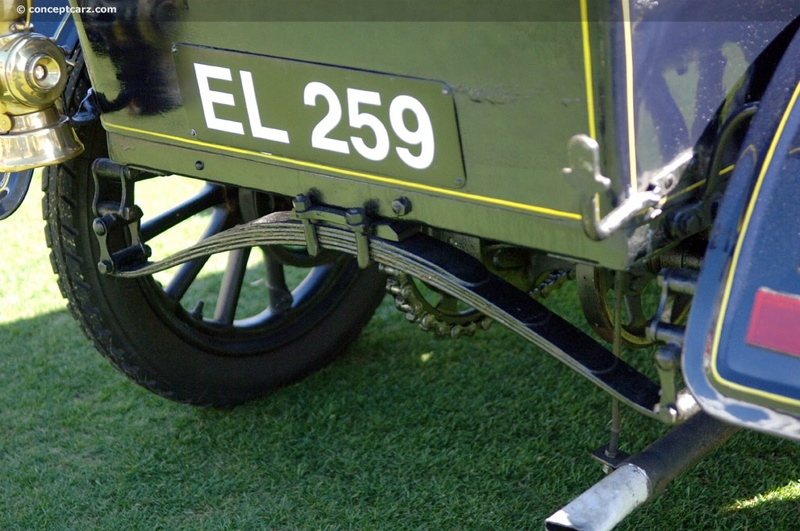 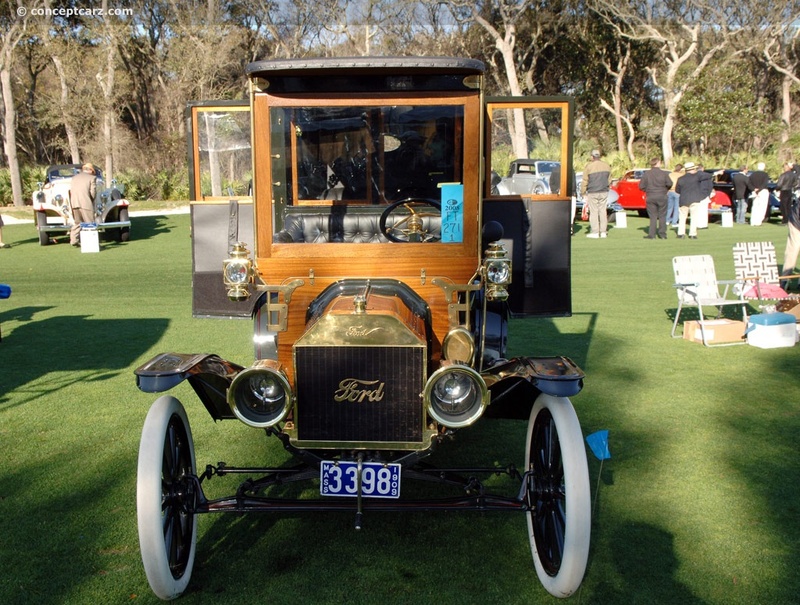 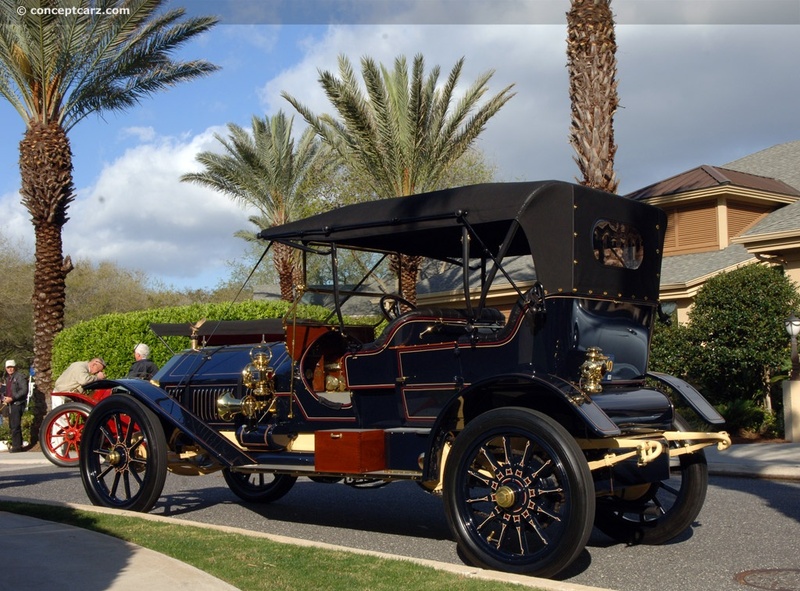 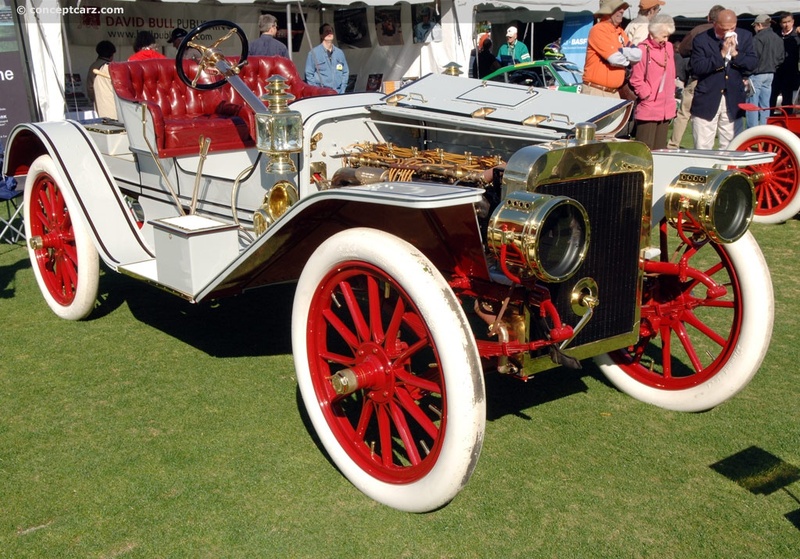 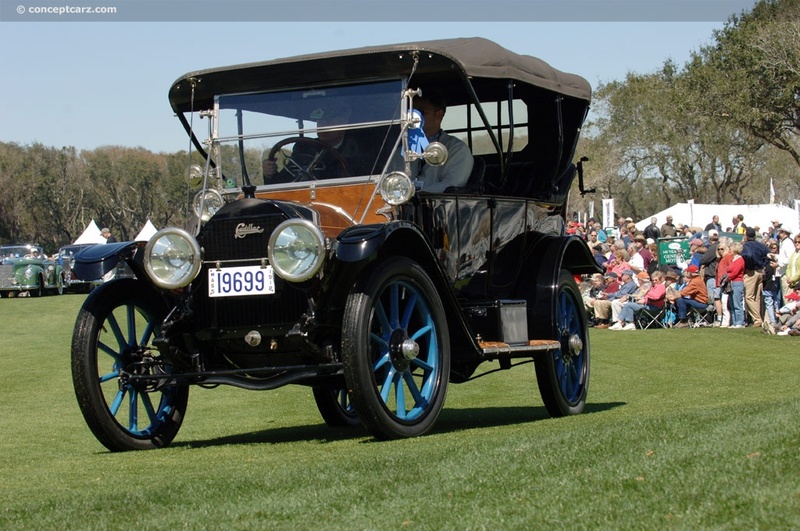 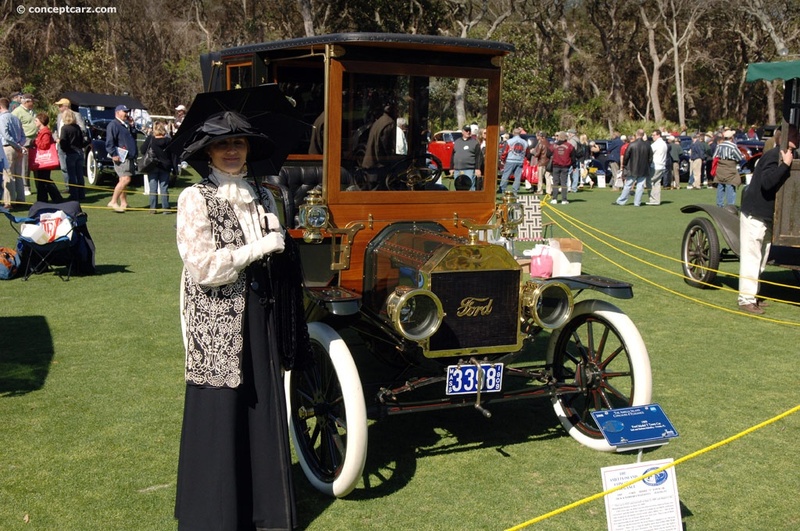 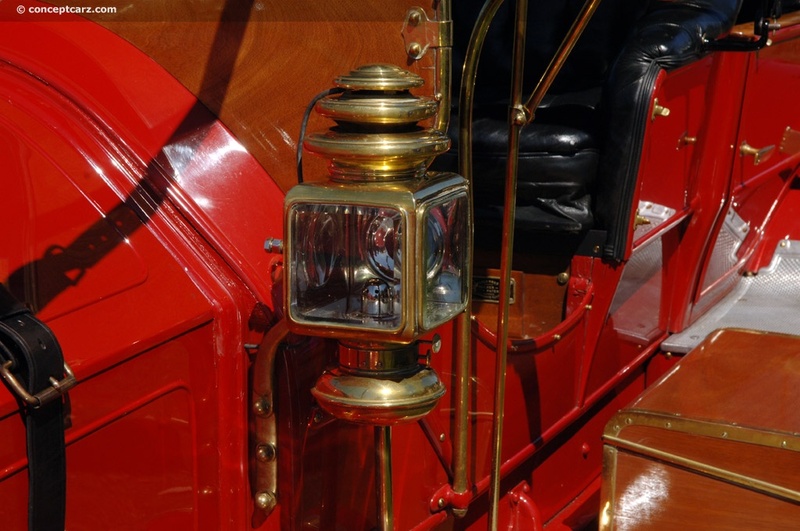 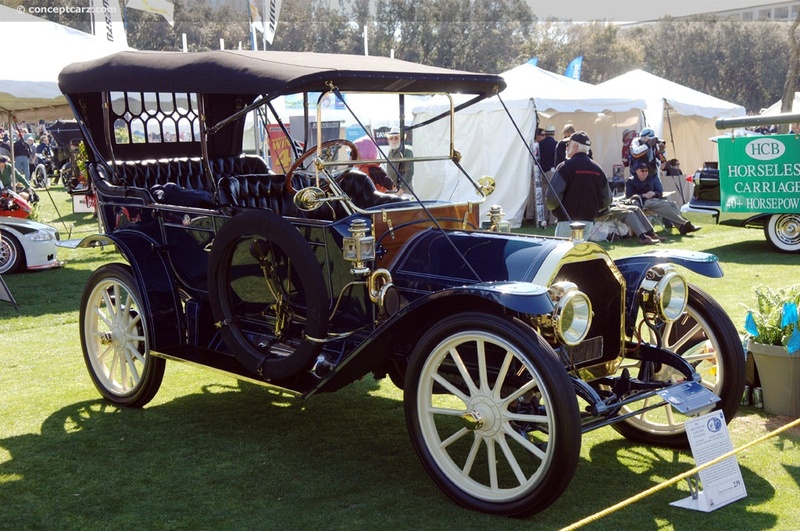 The earliest example was the 1902 Ford 999, which was named after a New York Central railway train. 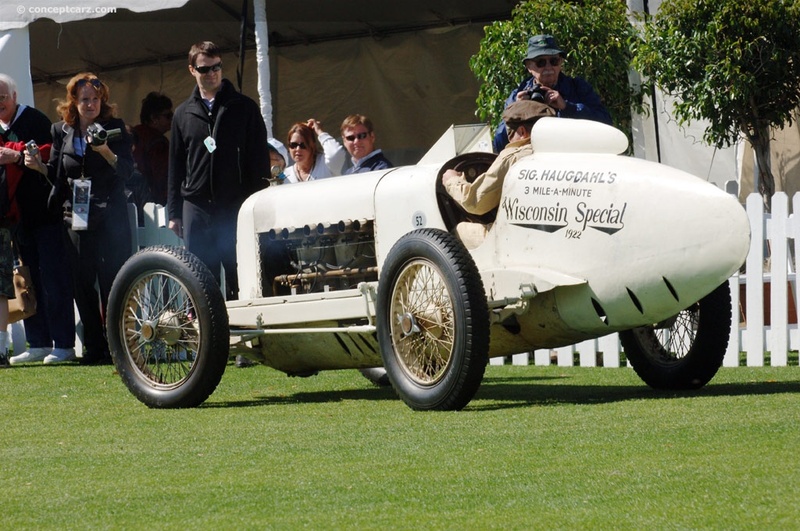 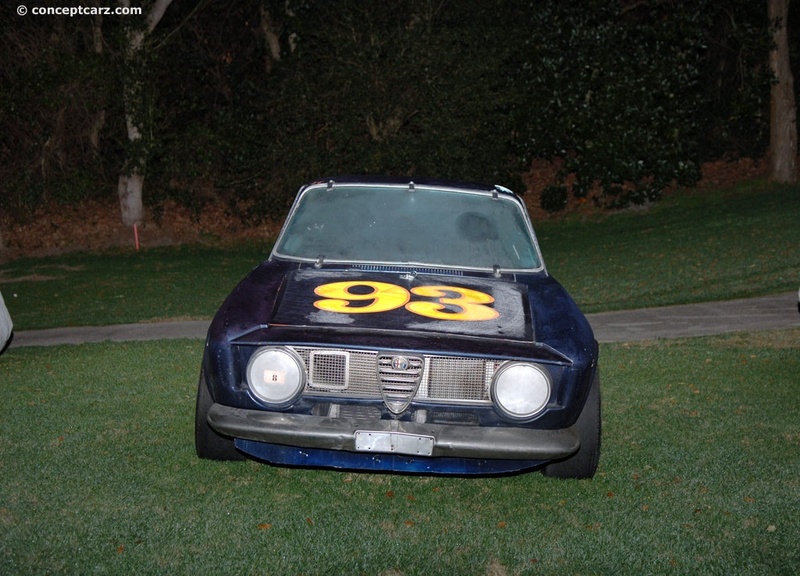 It was driven by Barney Oldfield, outpacing the competition, and setting a new American record. 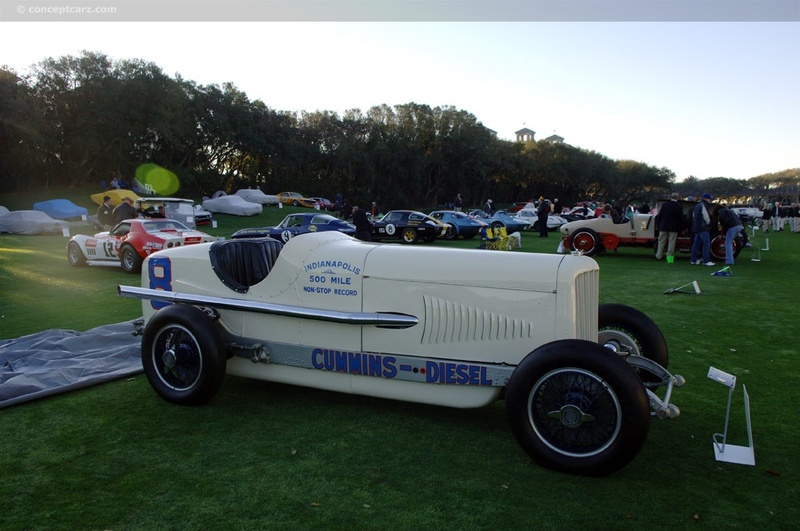 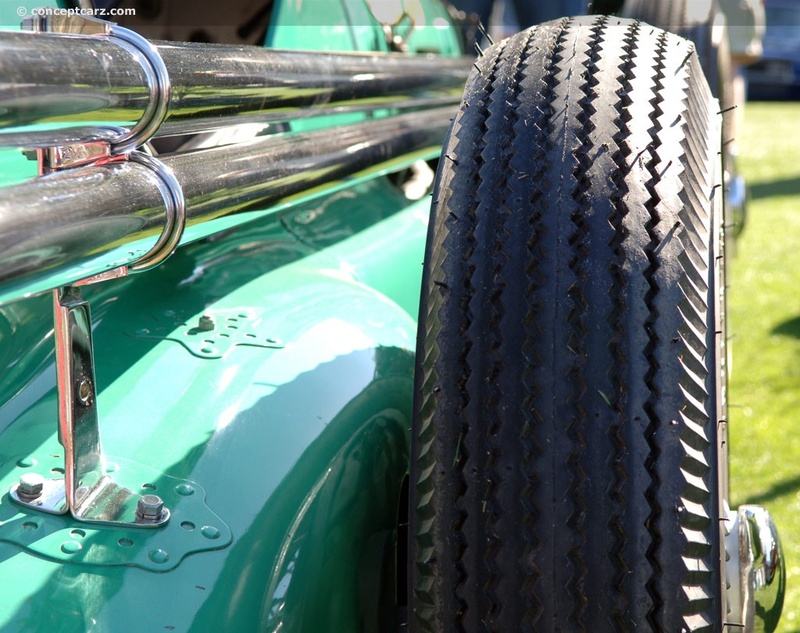 The Cummins Diesel Racing Special was an entrant at the 1931 Indy 500 mile race. 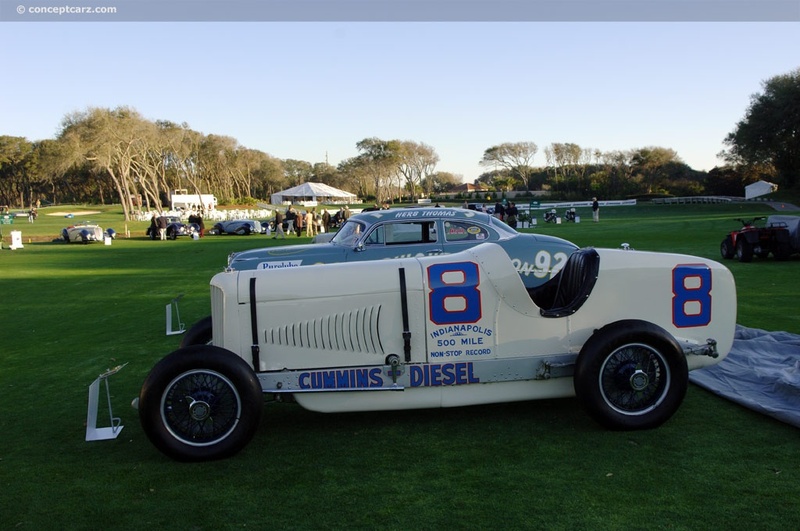 It ran the entire route averaging 86.1 mph and never needed to stop for fuel. 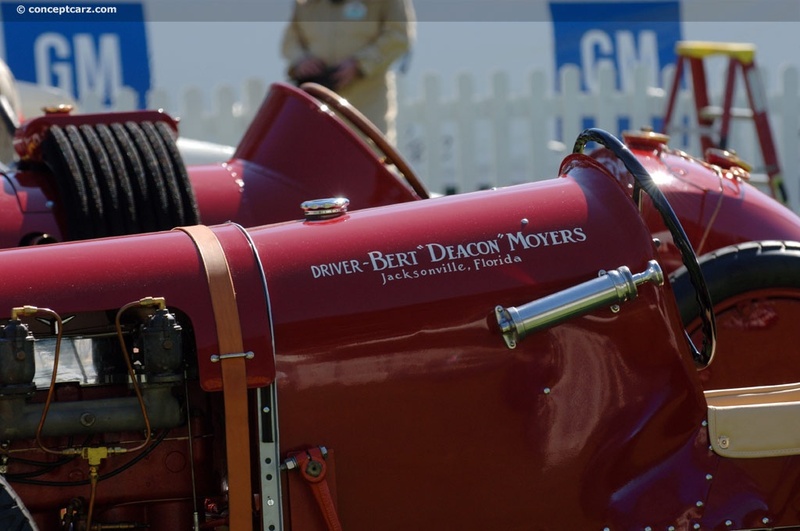 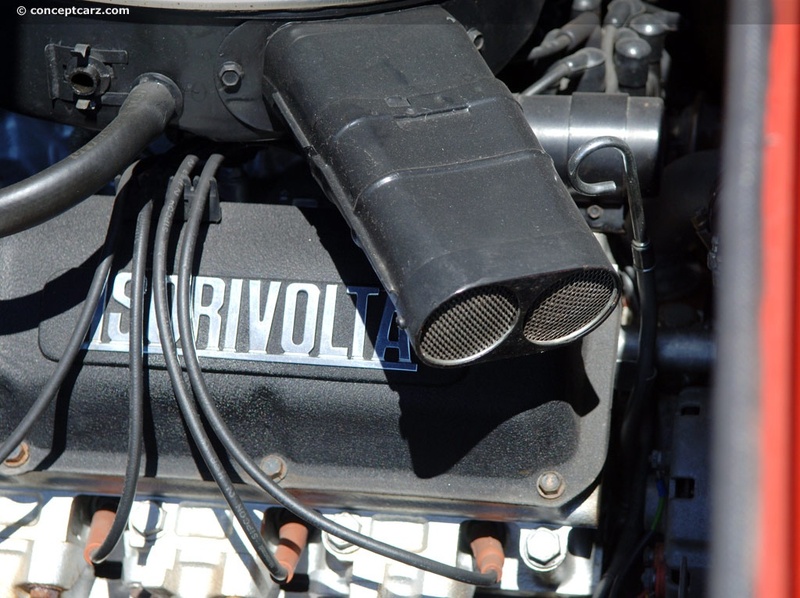 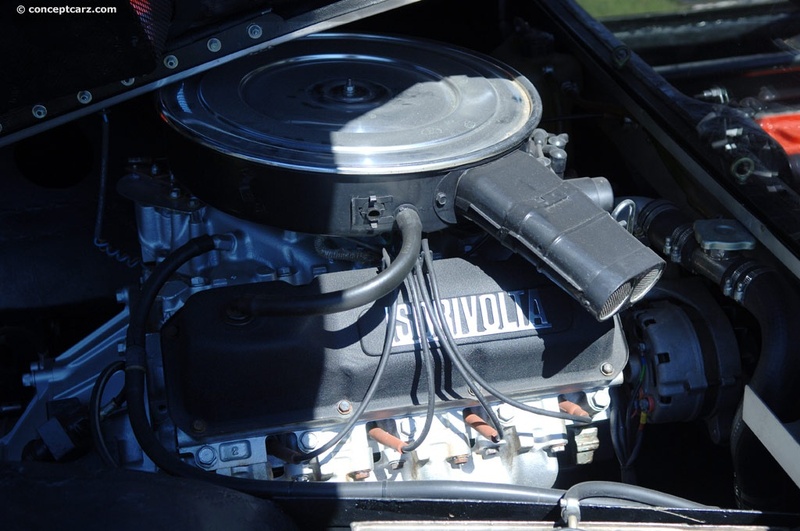 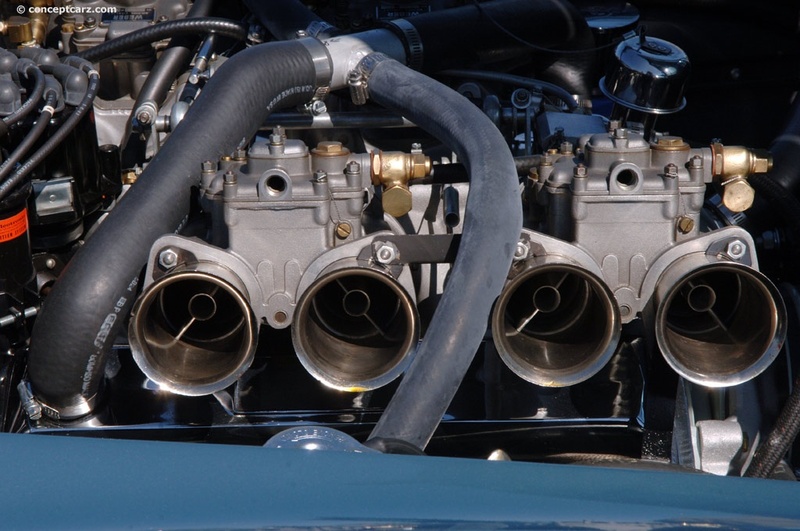 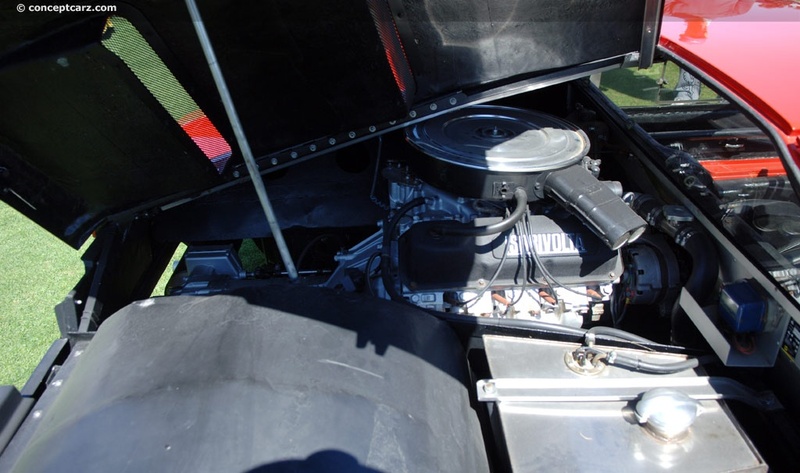 Later that year it was brought to Daytona Beach where it set a new record for a diesel-powered car of just over 100 mph. 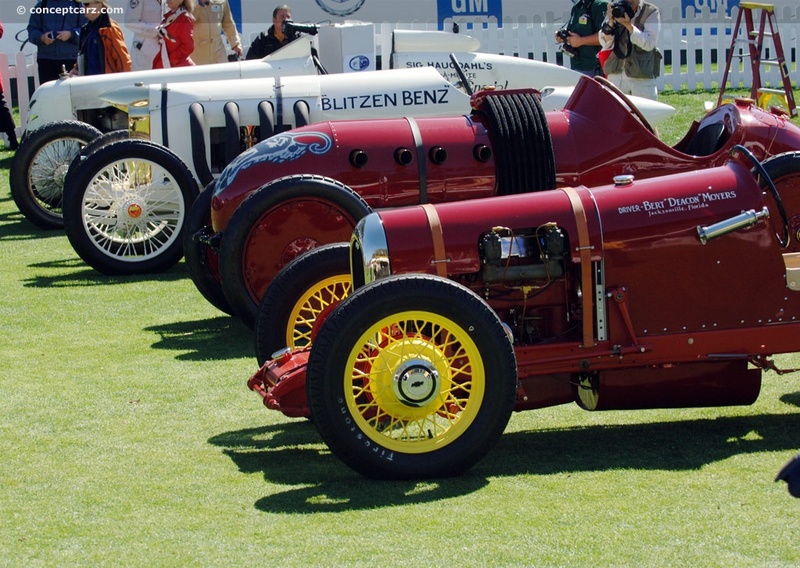 From this group of cars, the judges chose the 19-liter Mercedes Aero-Engined Special as their Best in Class. 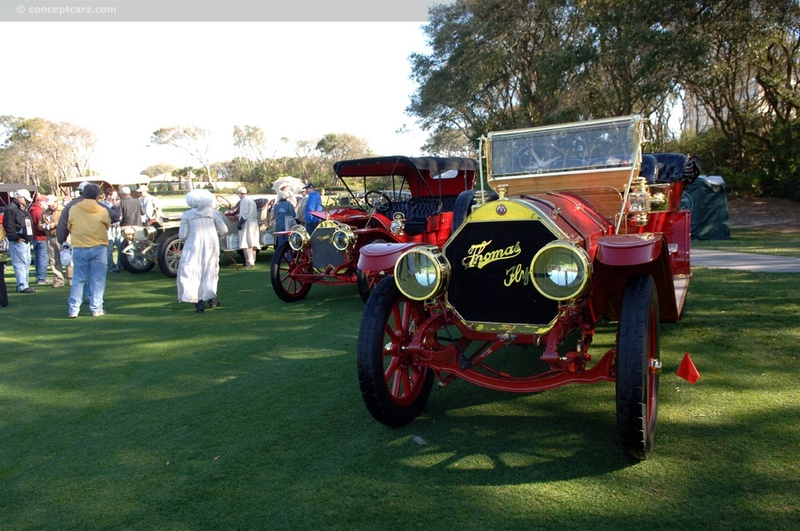 The Thomas Flyer Company was founded in Buffalo, NY in 1900, by Edwin Ross Thomas. 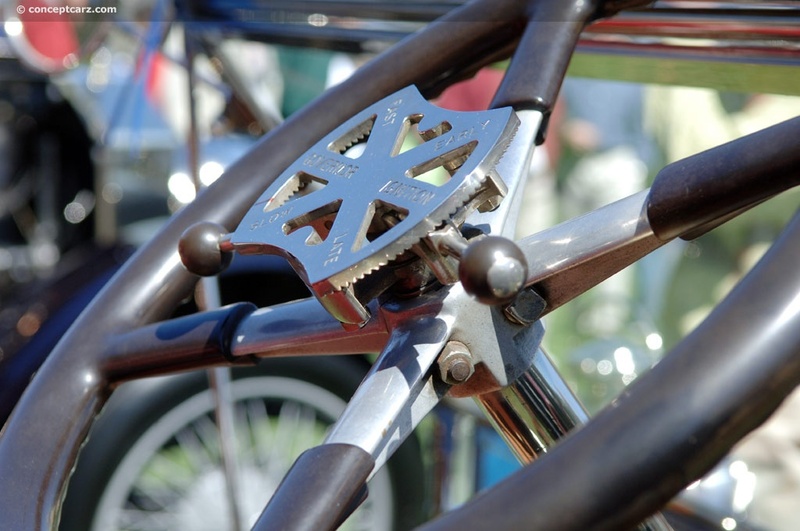 It began by building bicycles and motorcycles. 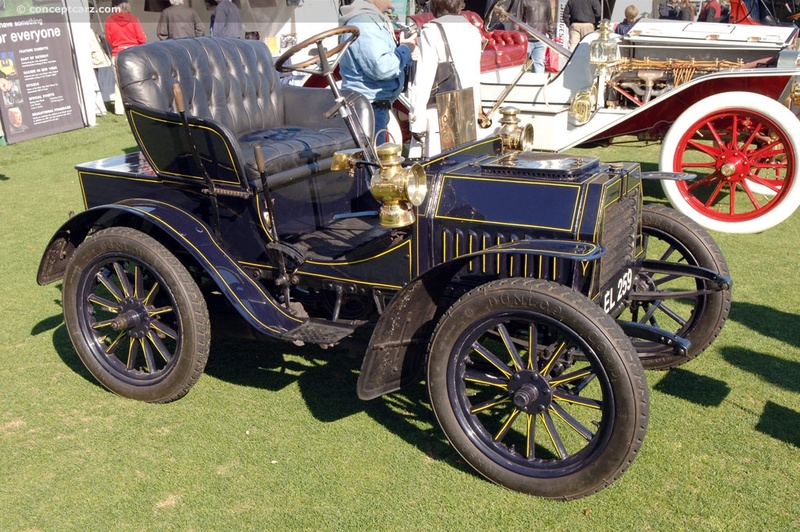 Car production began in 1902 and would continue until 1912. 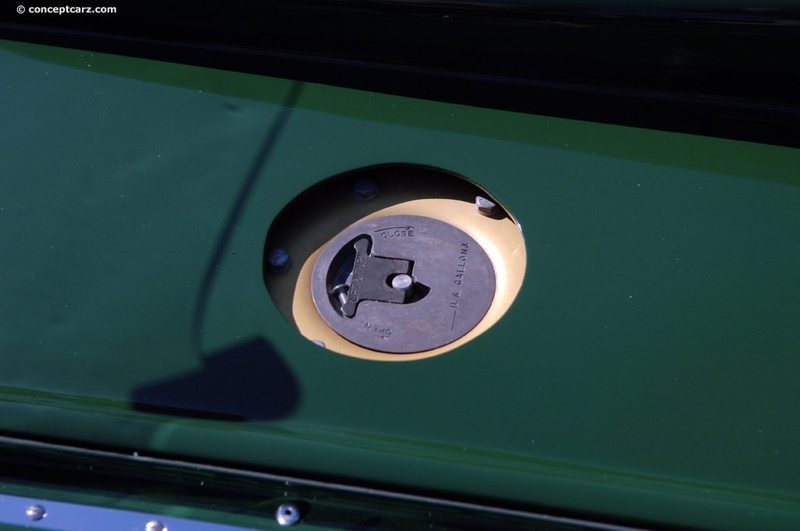 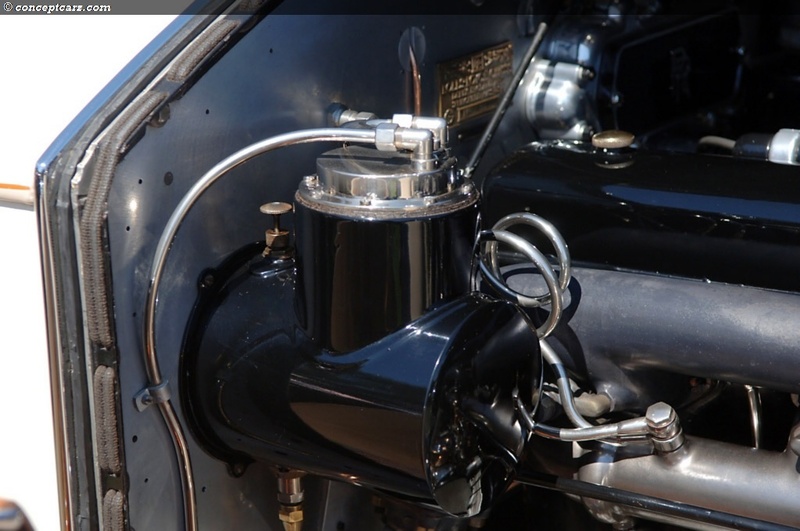 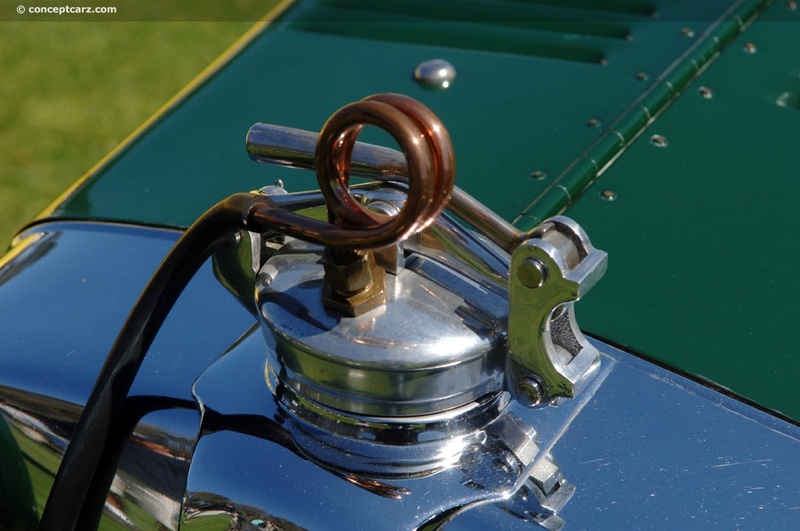 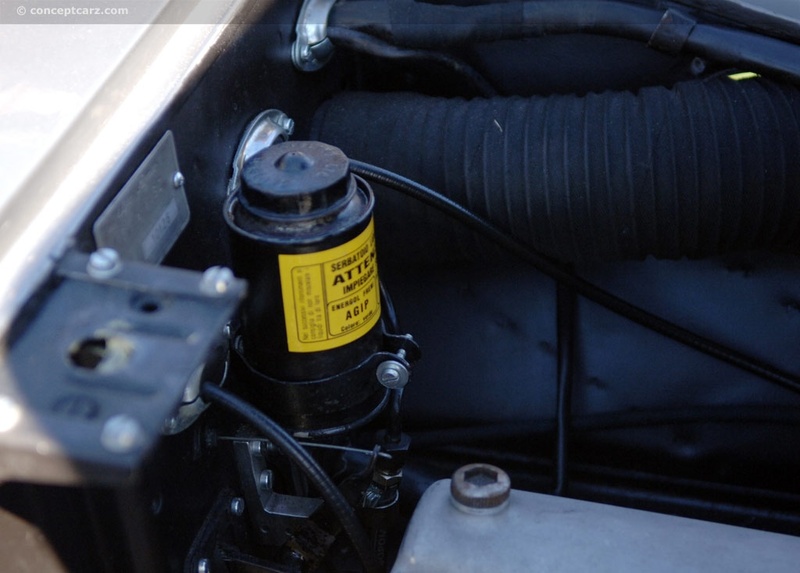 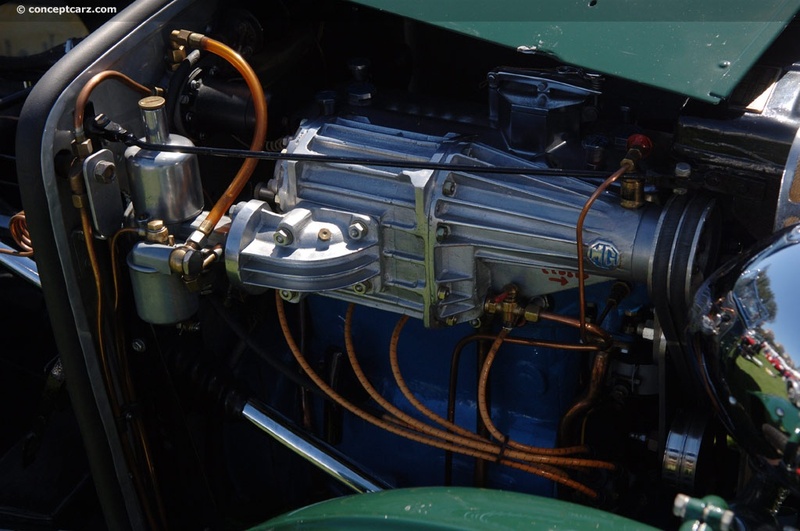 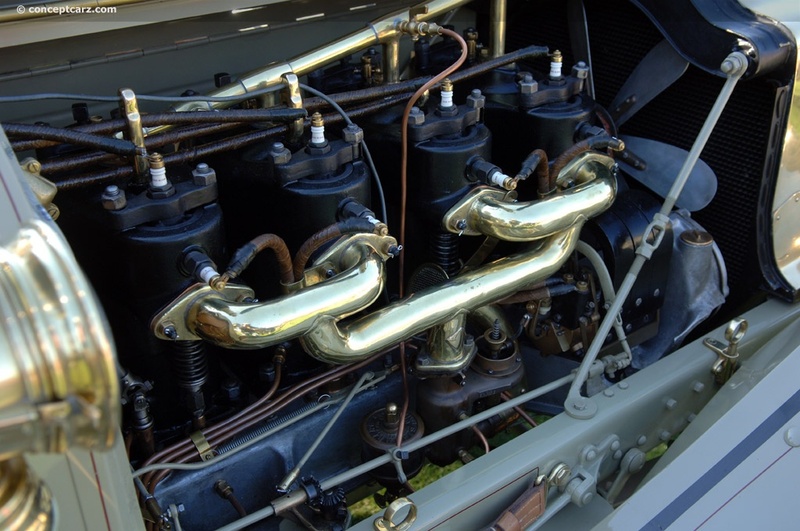 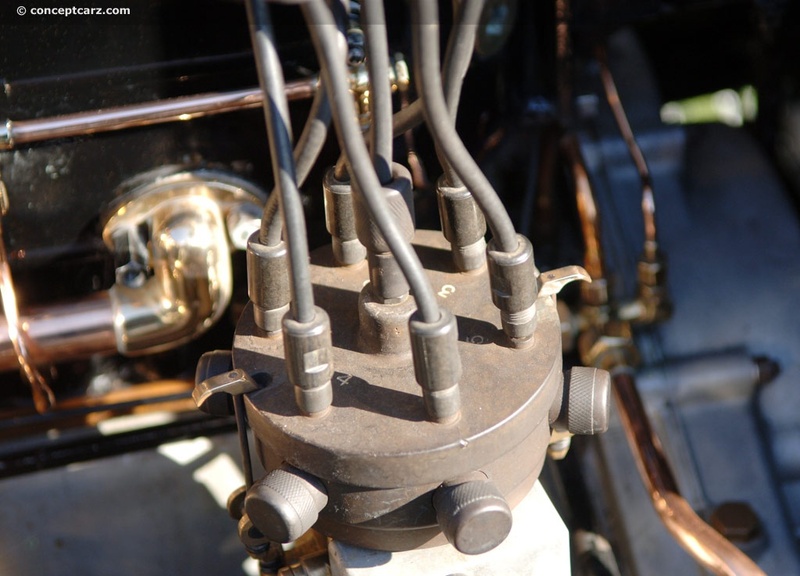 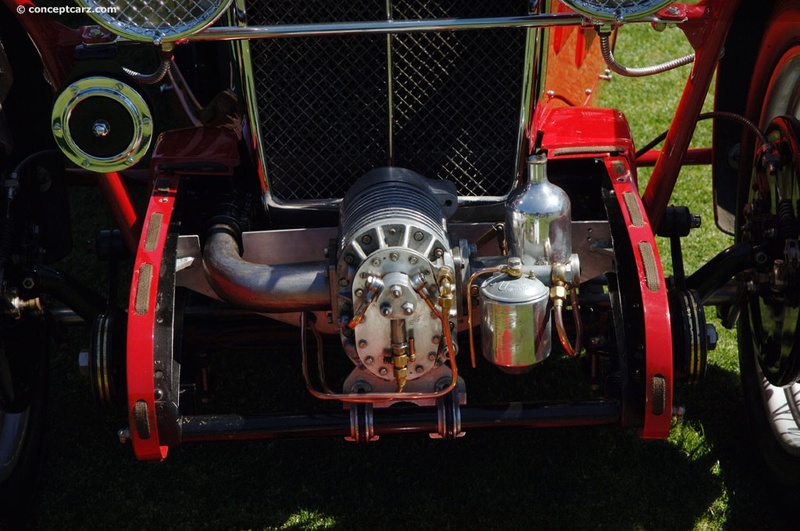 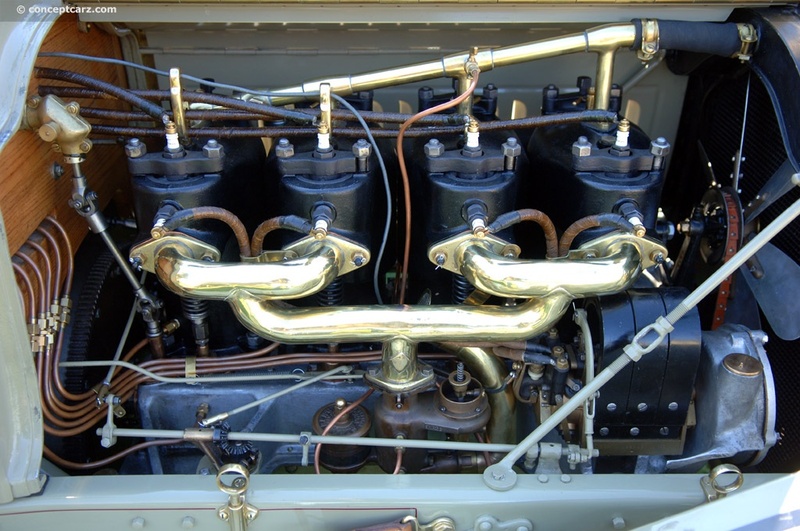 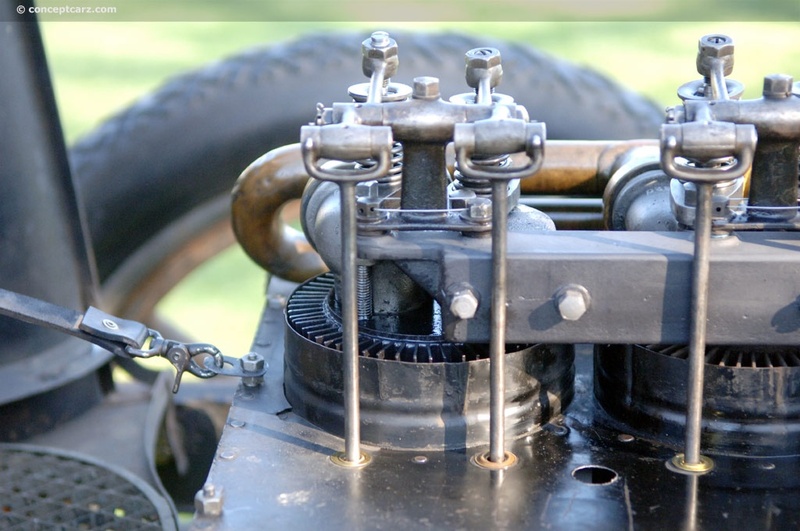 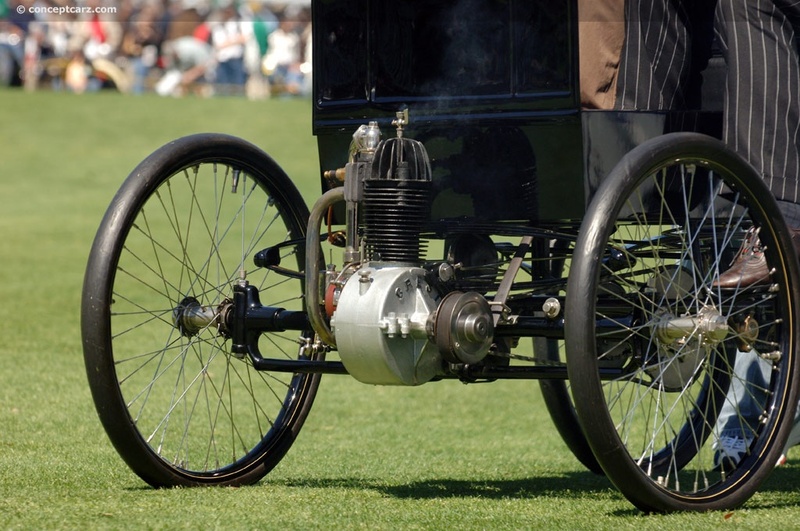 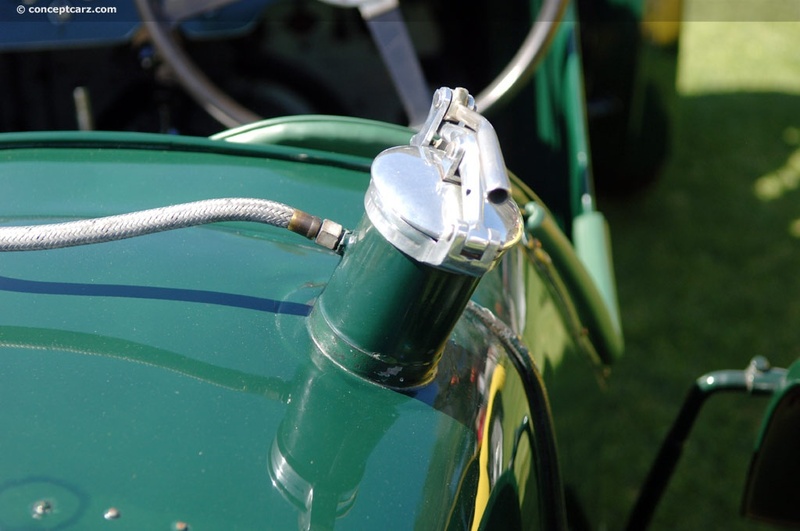 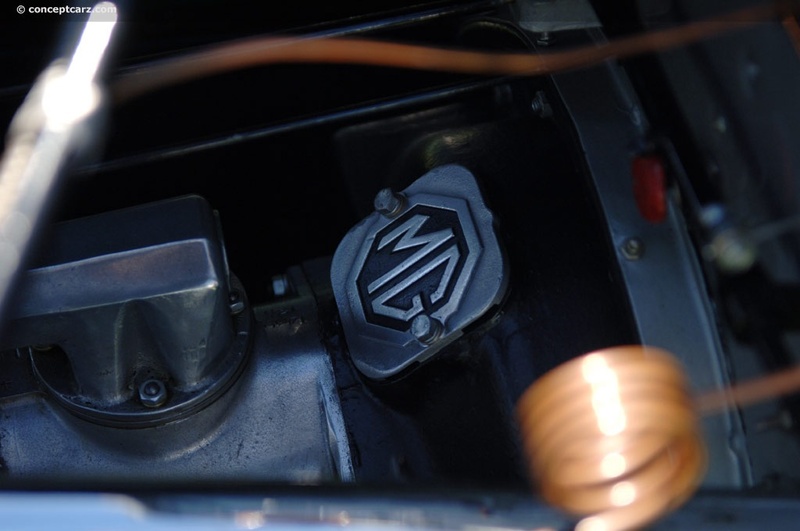 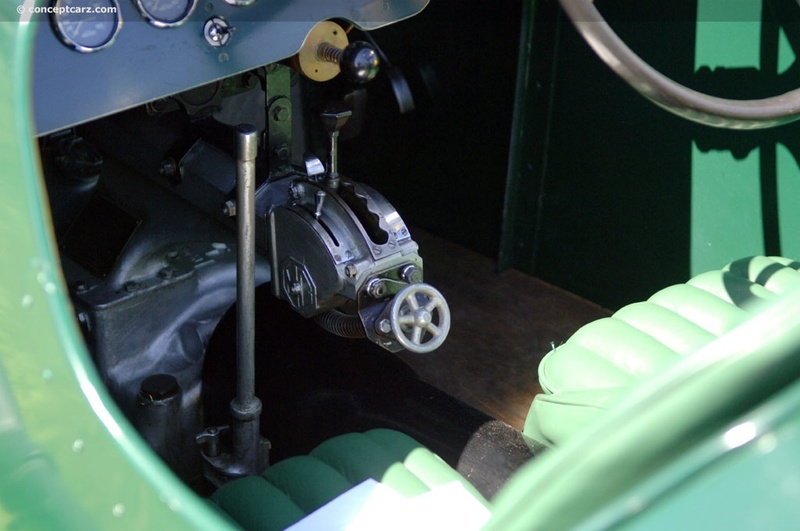 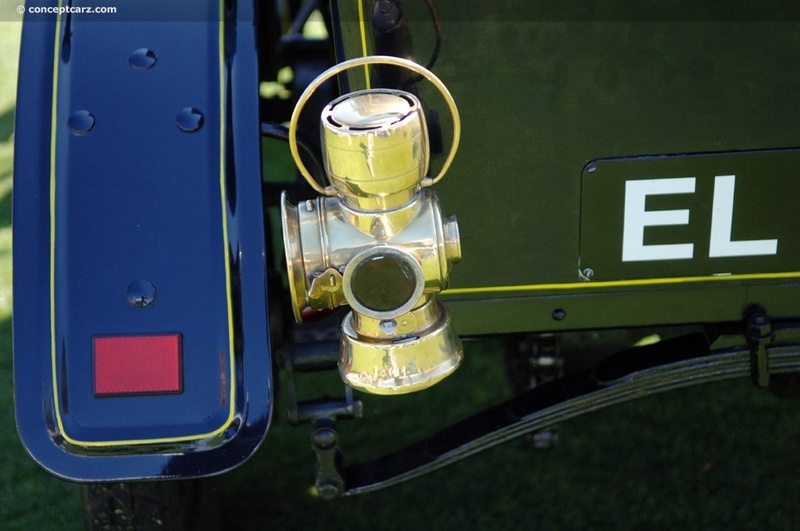 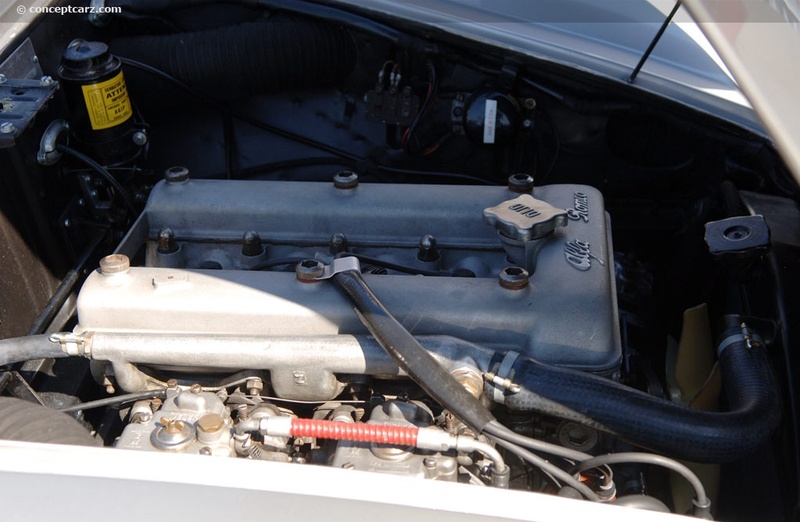 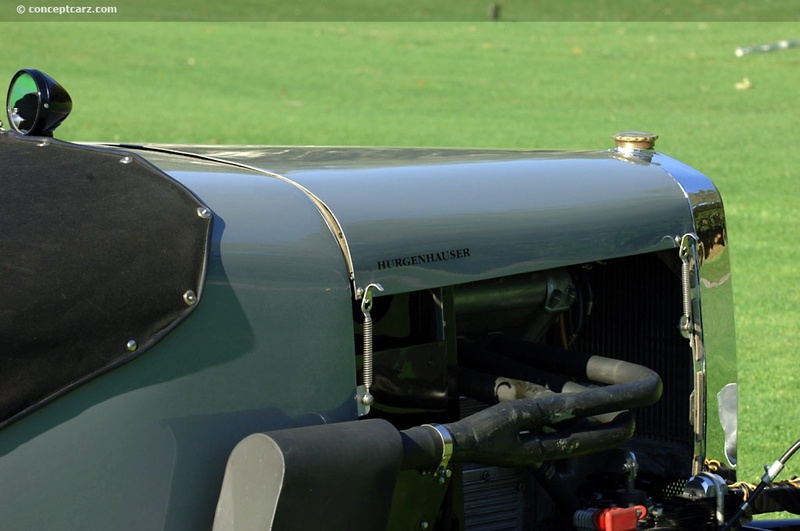 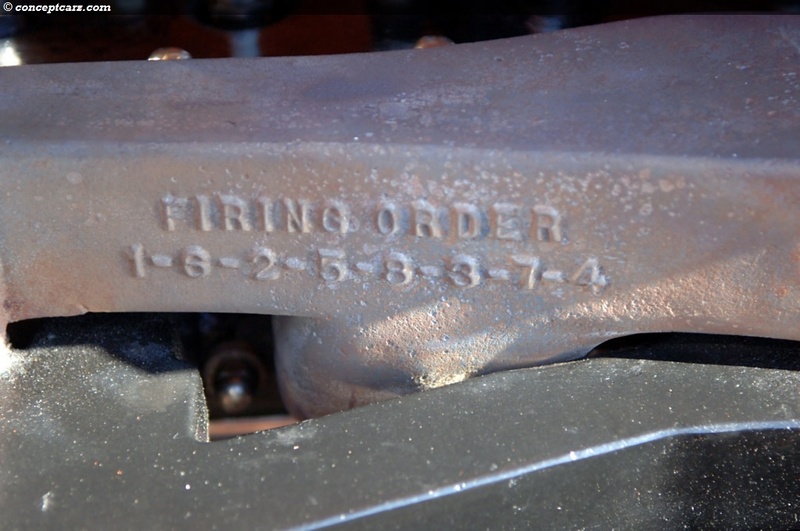 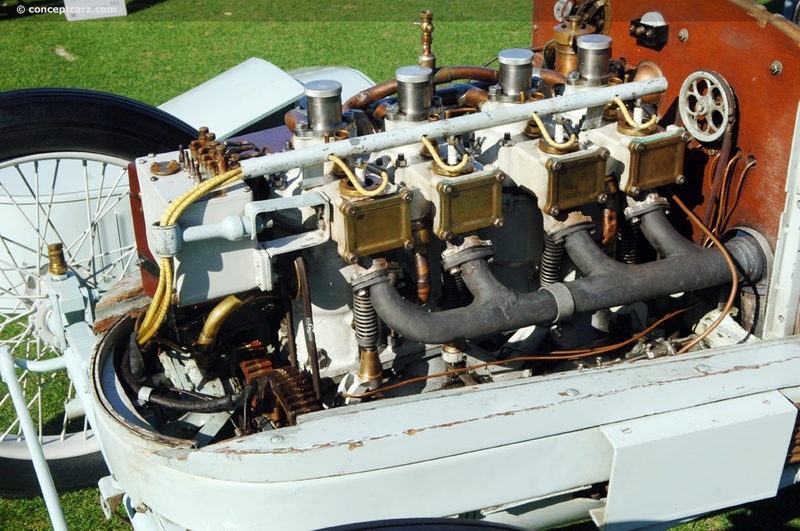 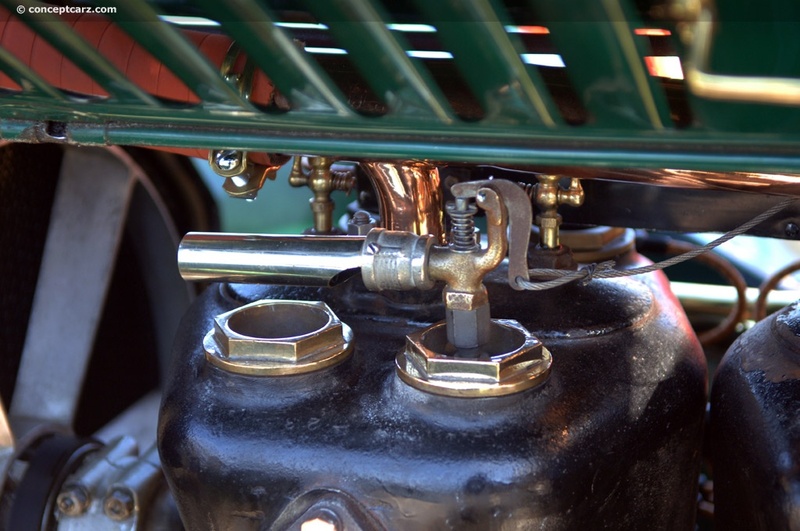 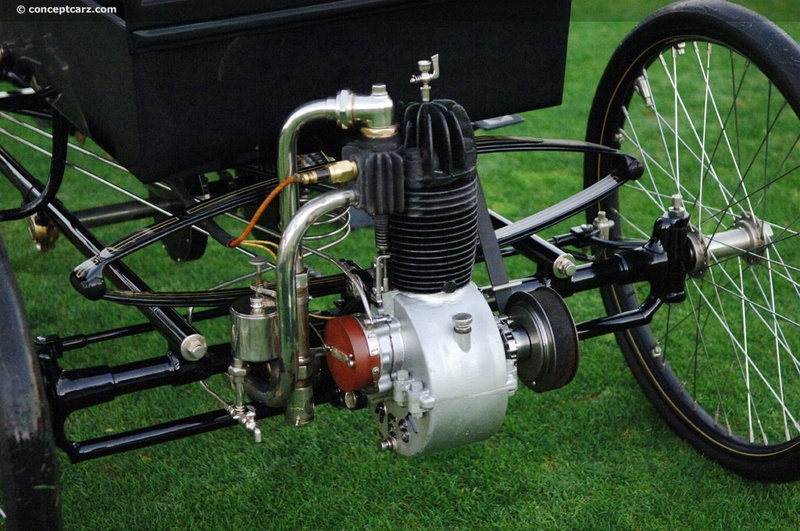 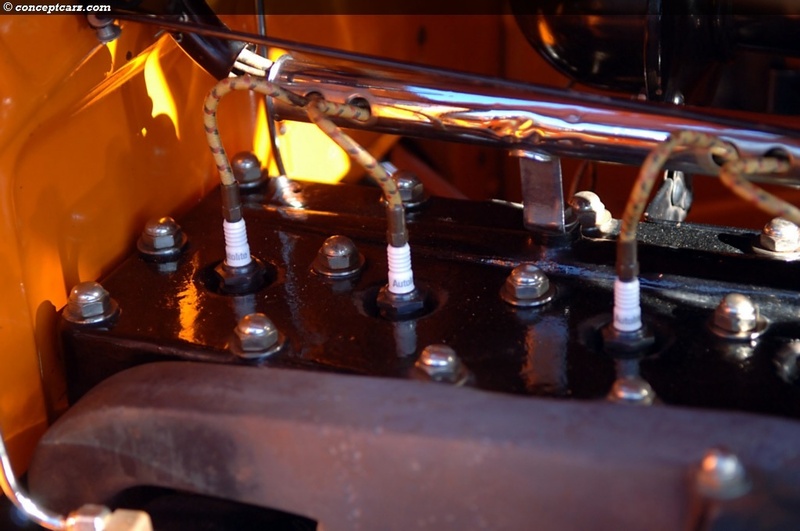 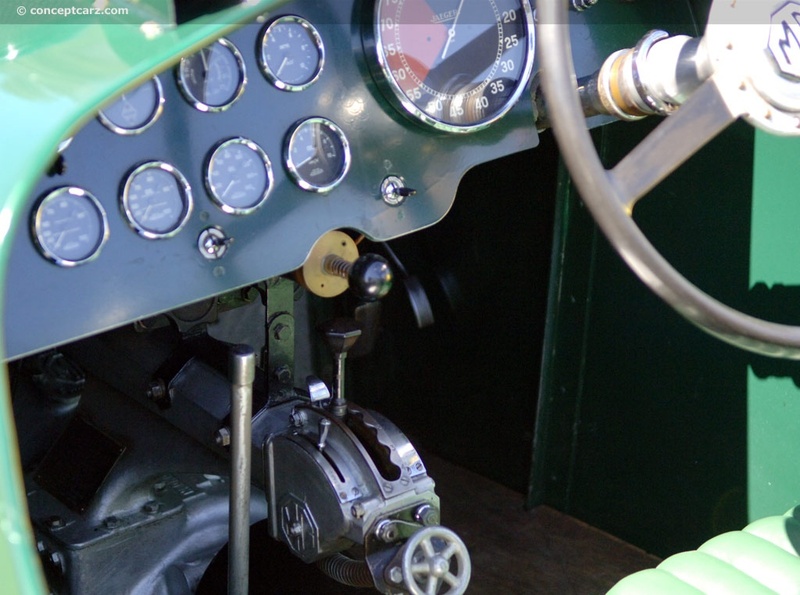 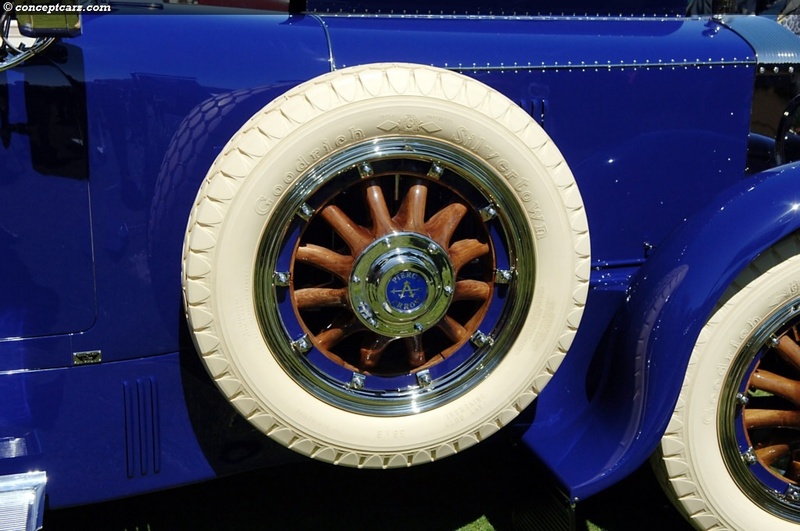 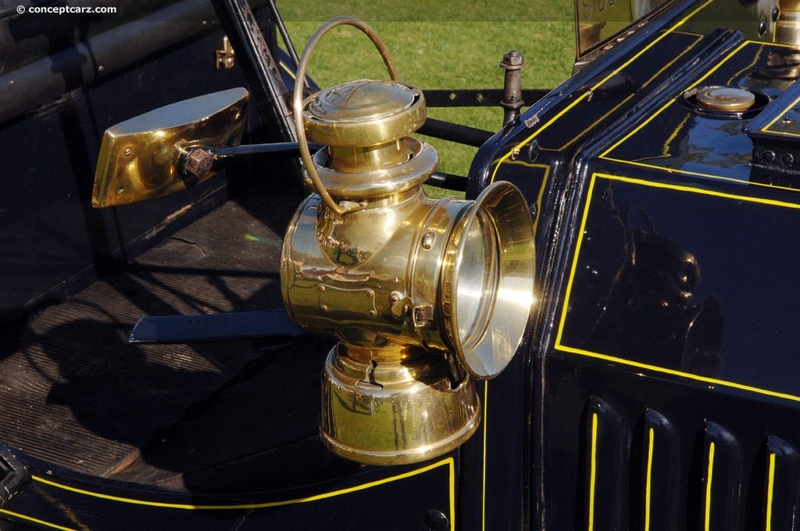 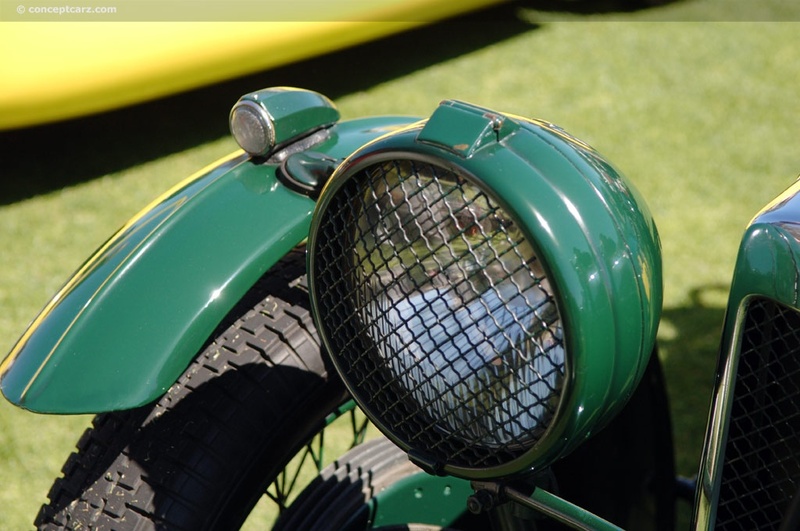 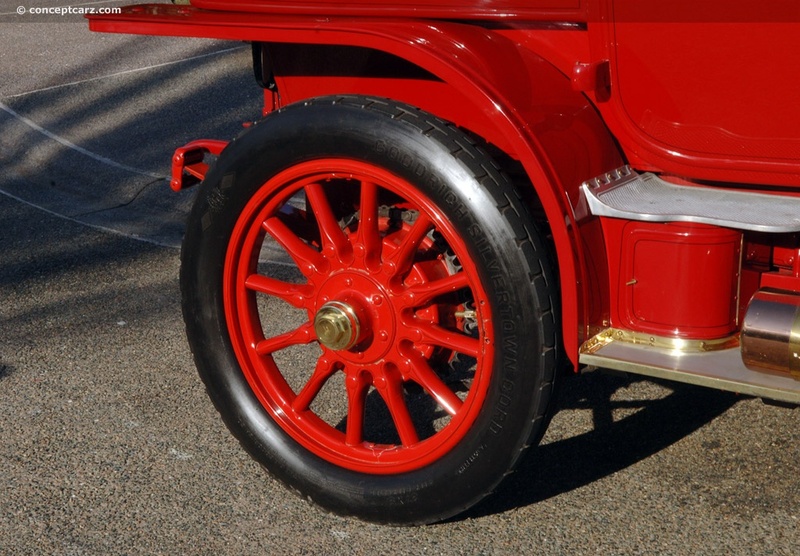 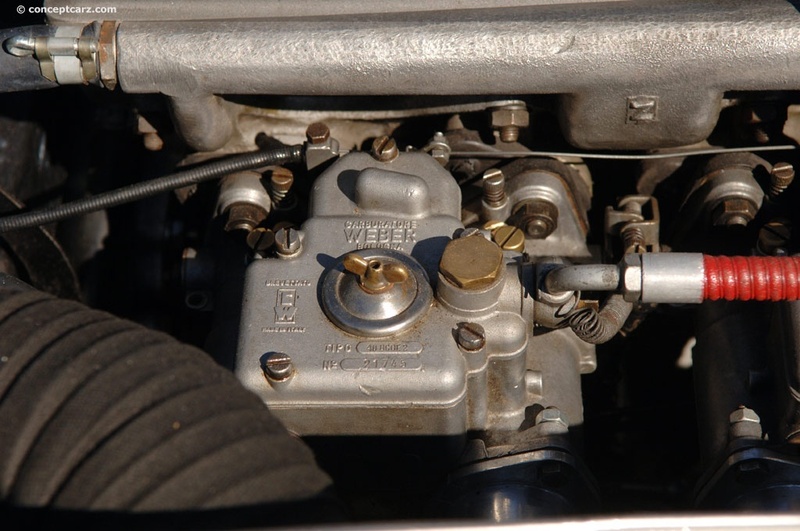 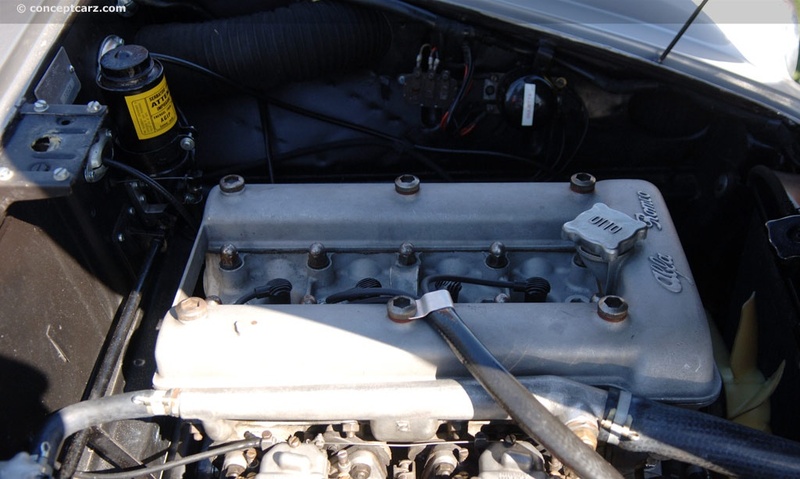 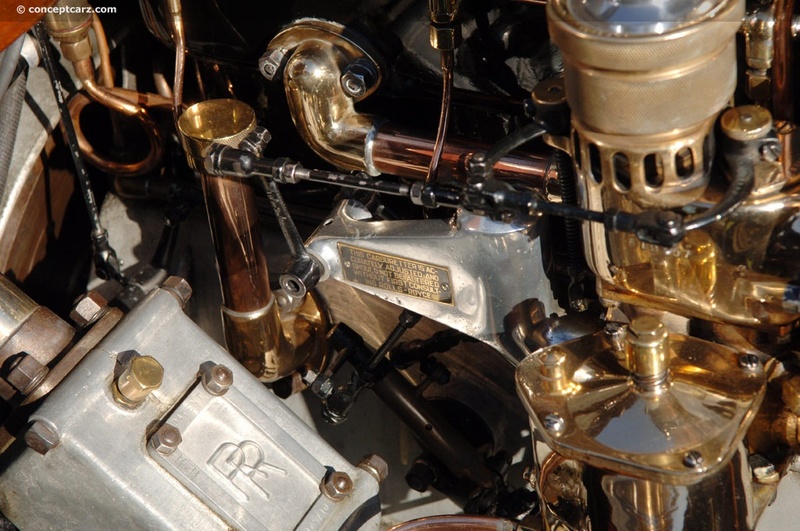 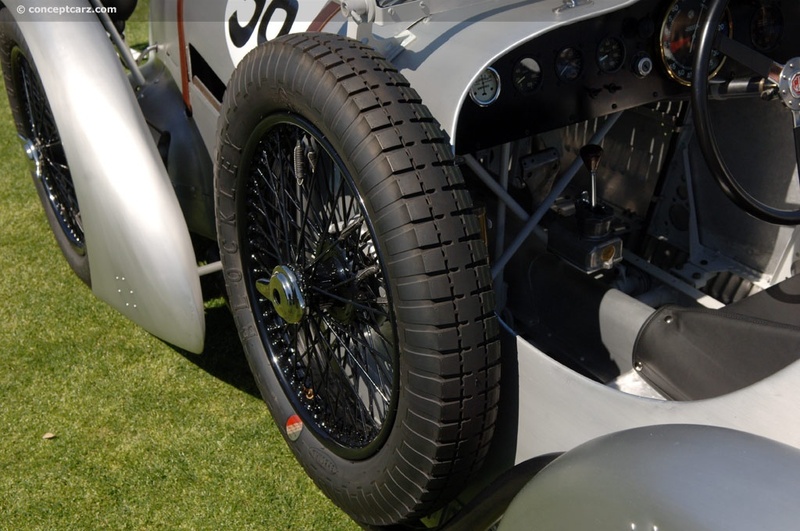 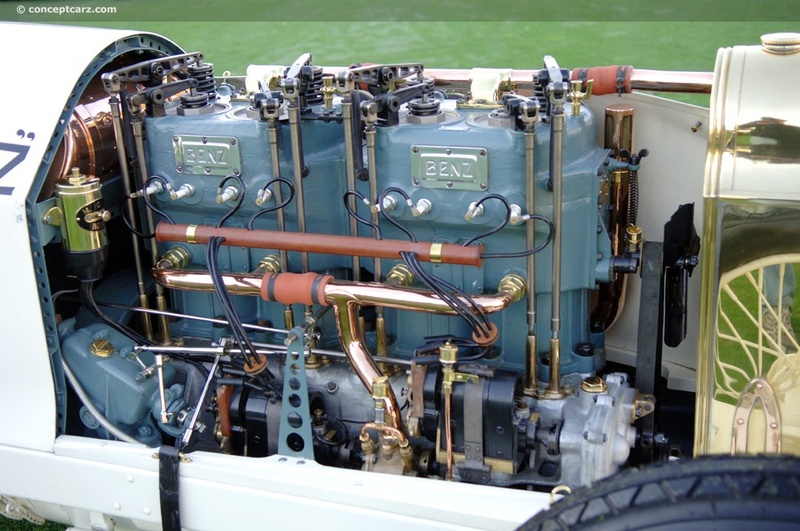 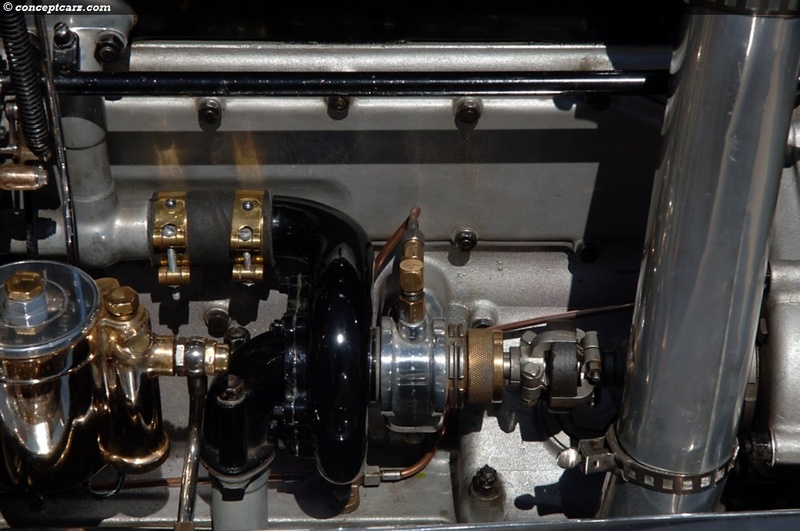 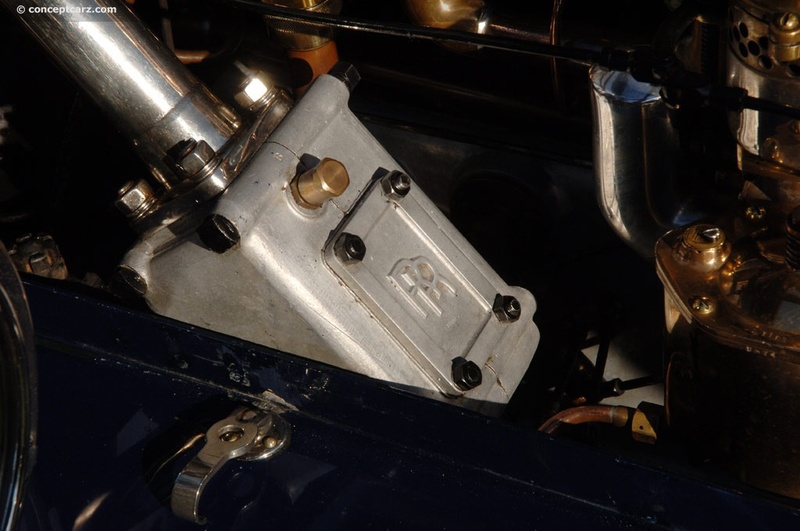 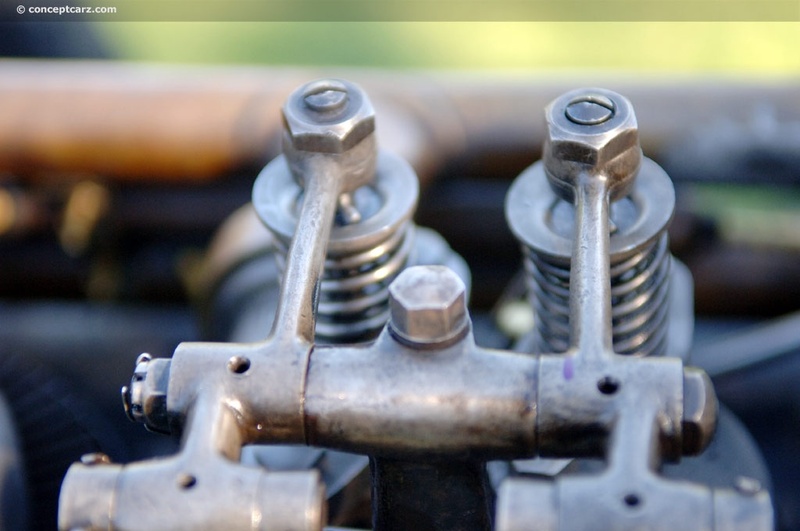 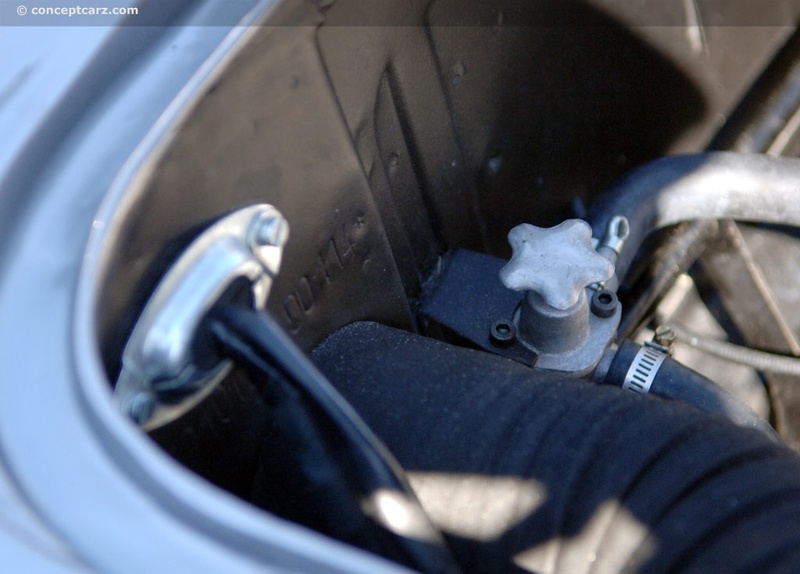 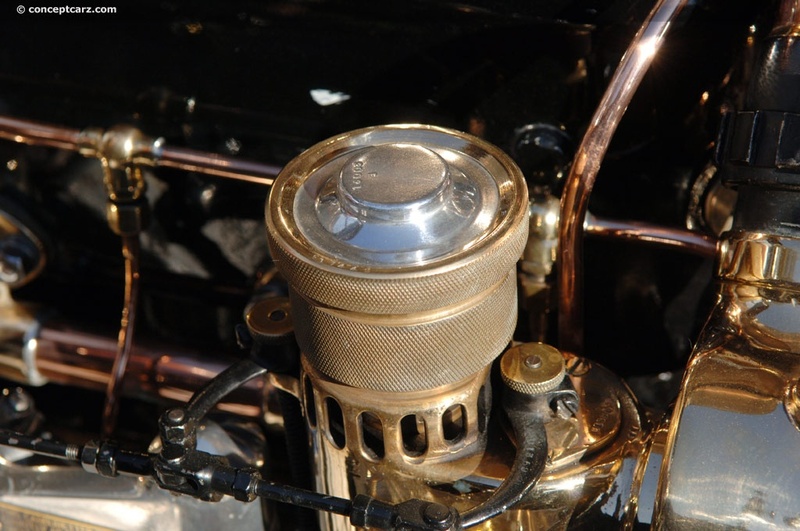 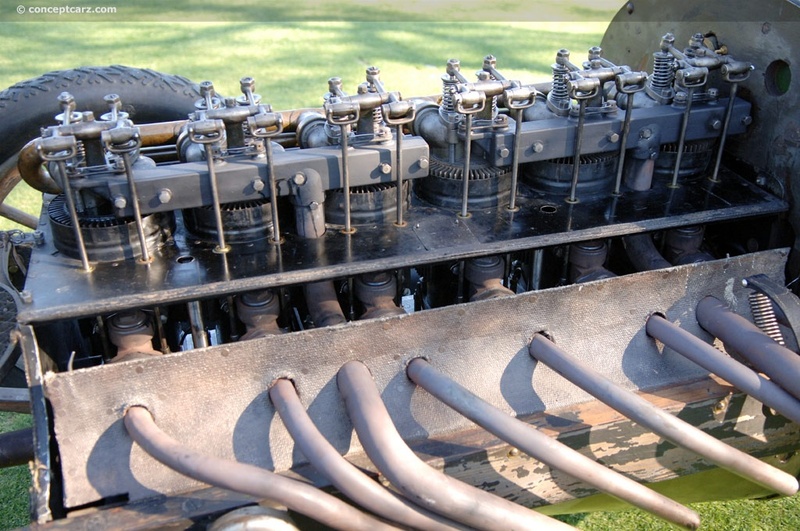 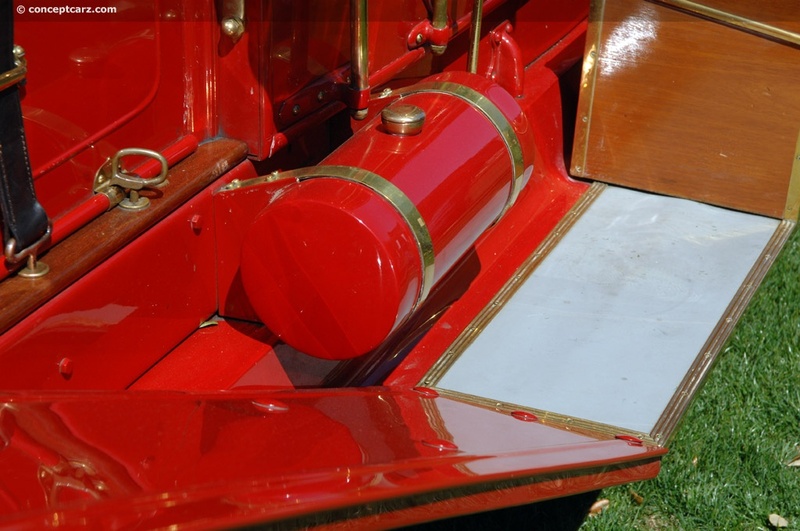 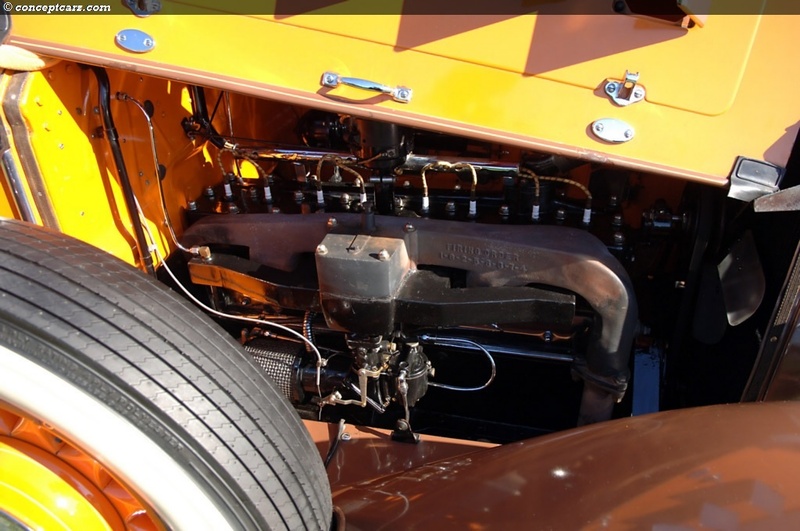 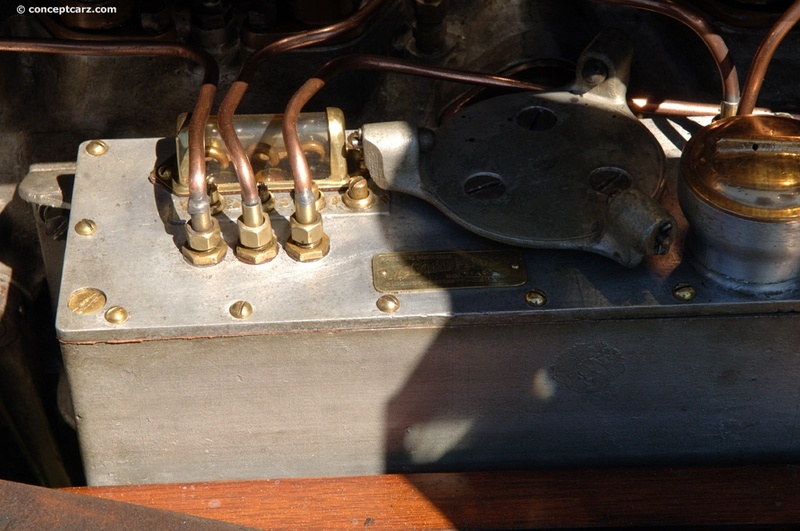 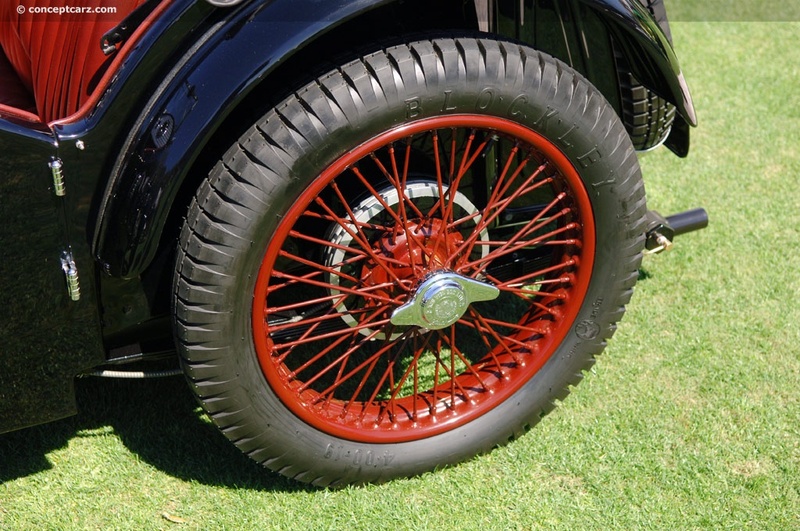 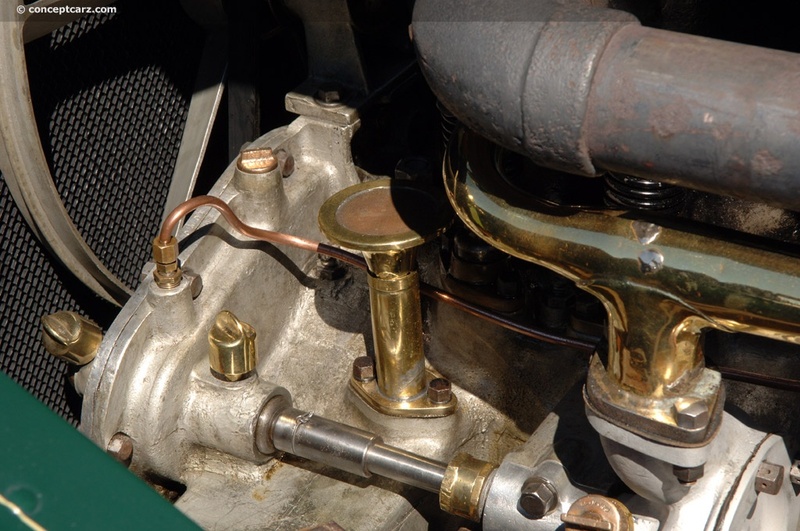 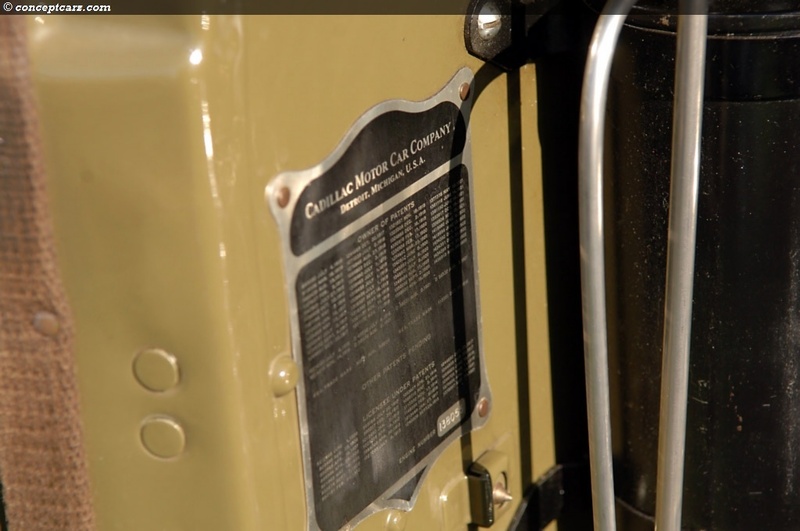 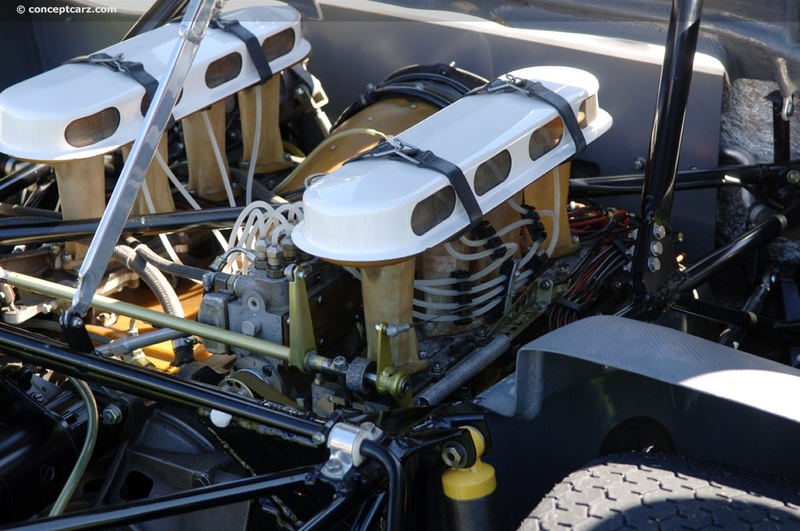 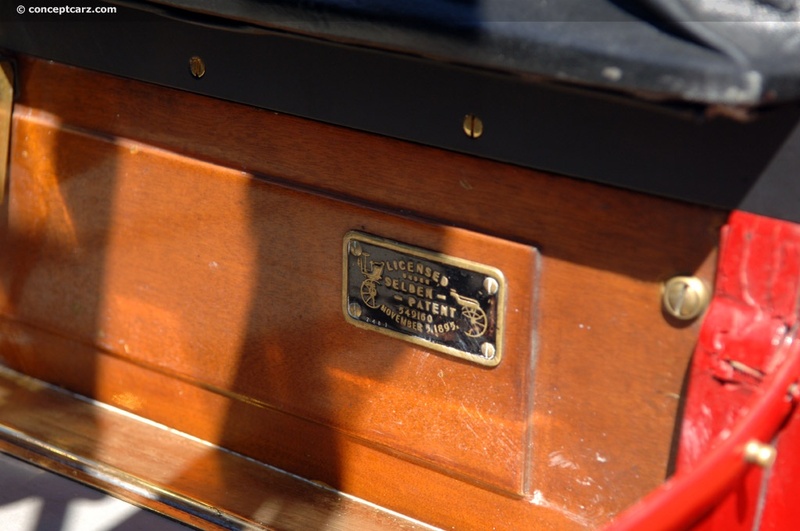 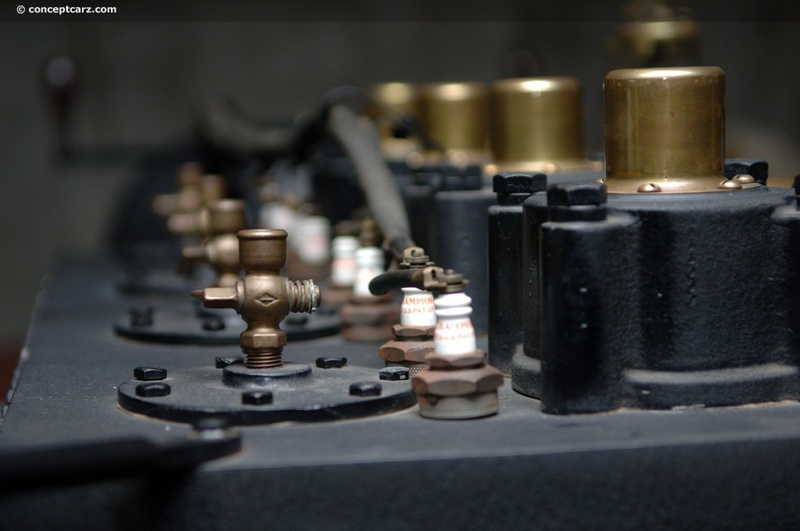 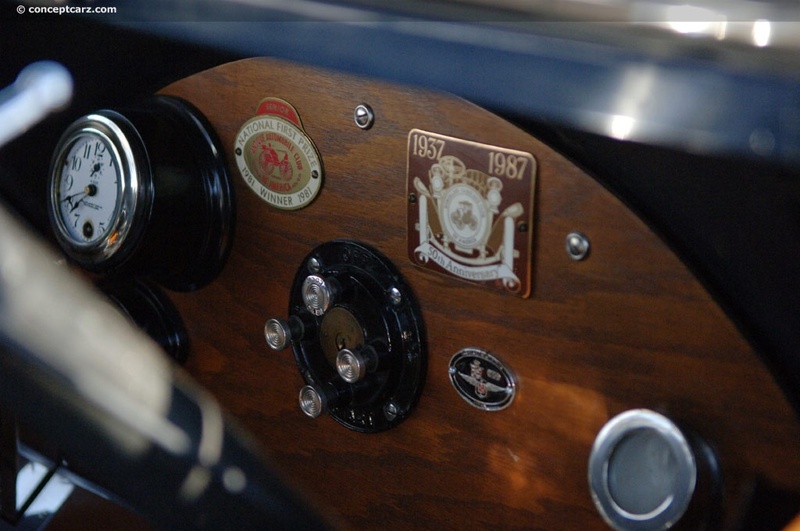 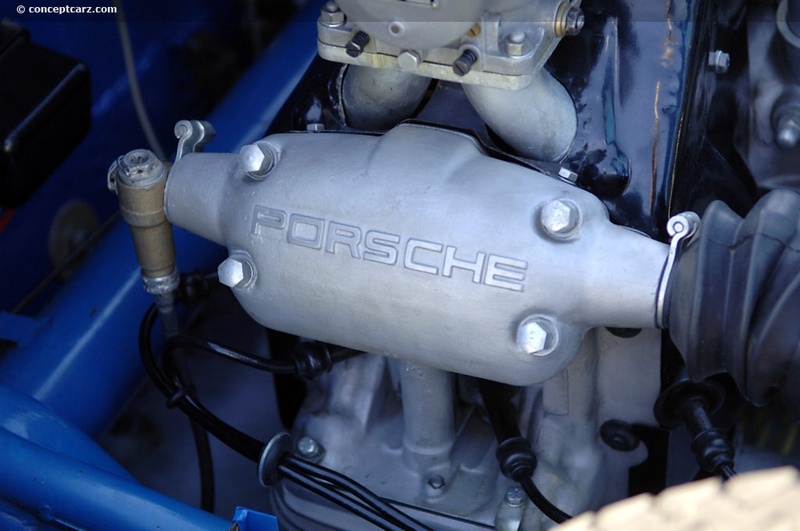 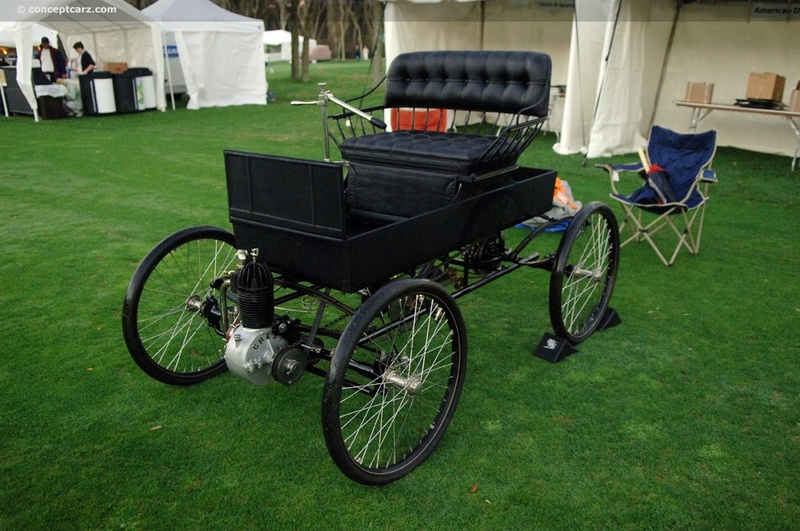 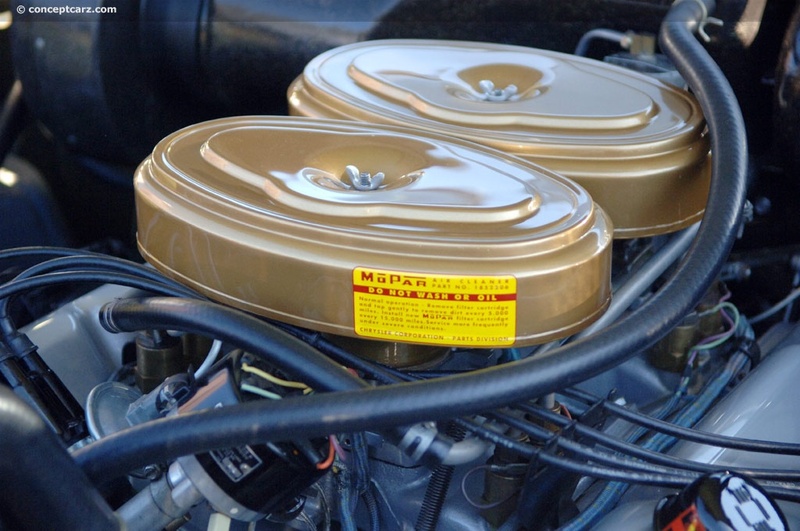 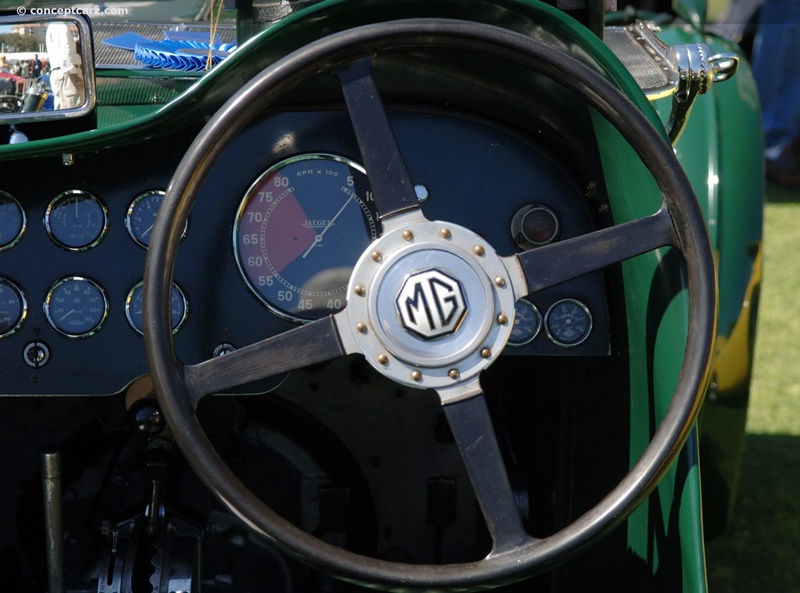 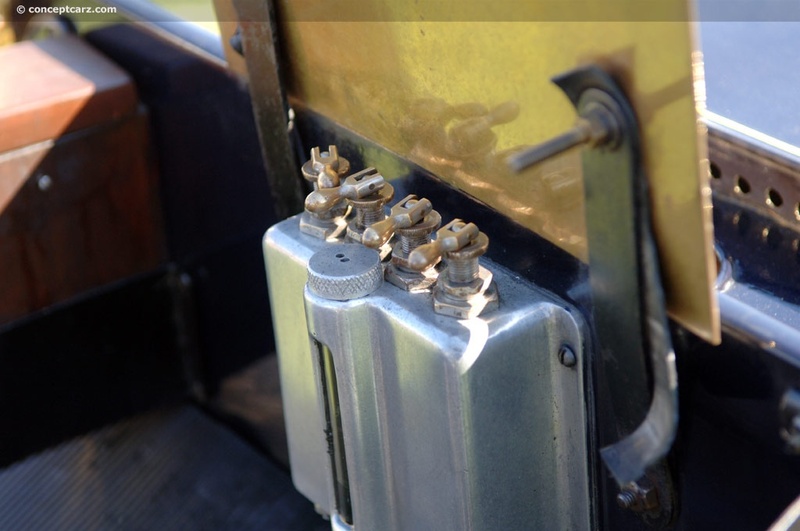 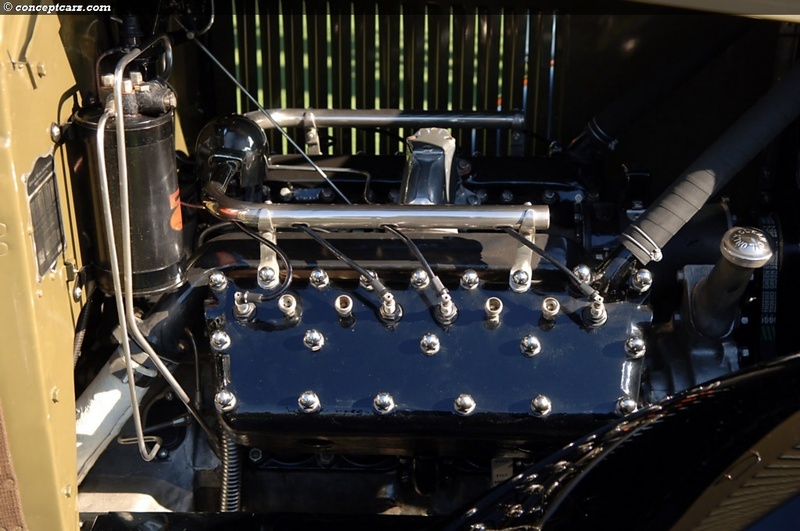 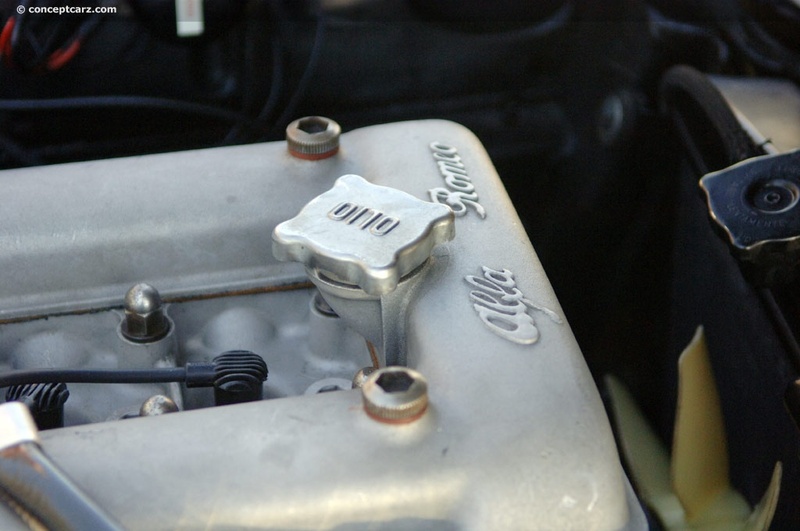 Their first model was a light single-cylinder car, and by production end, their cars were powered by six-cylinder units. 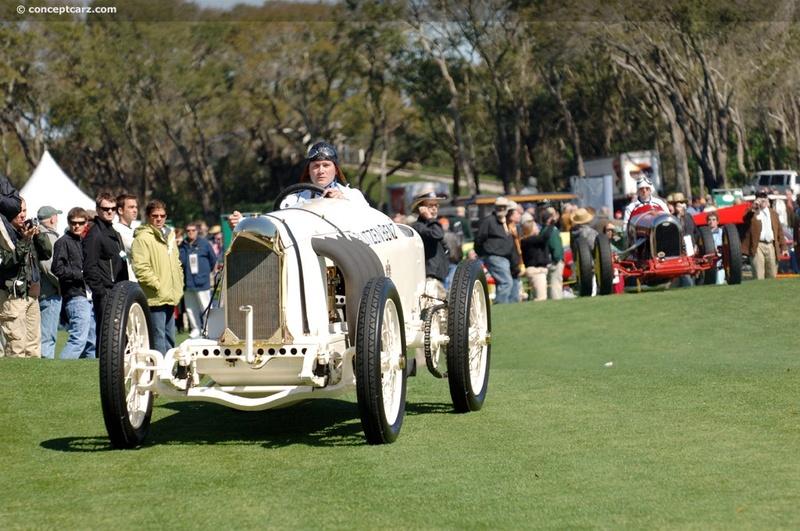 The company's most memorable experience was The Great Race. 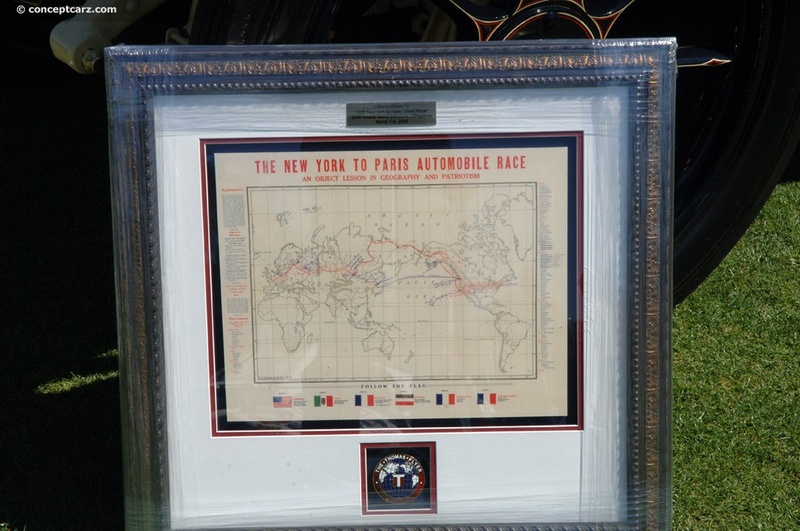 It was an around-the-world event that began in New York and ended in Paris, covering 22,000 miles. 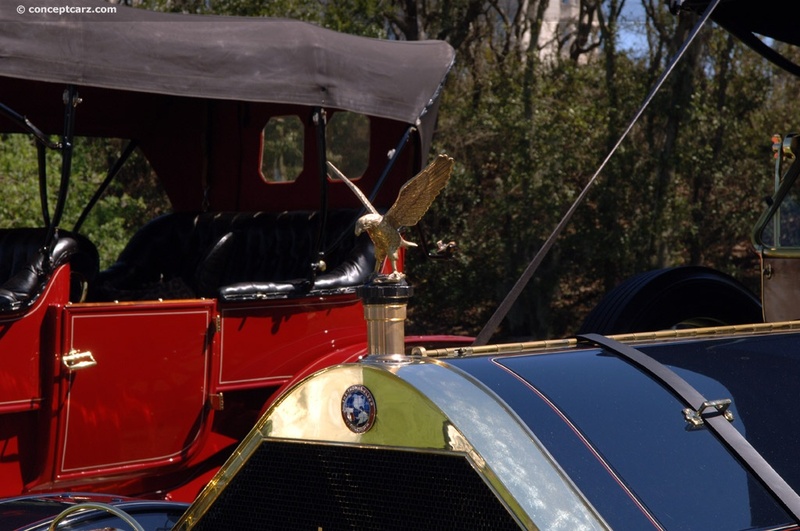 There were six other automobiles that partook in this epic adventure, with the Thomas taking the shortest amount of time to complete the journey. 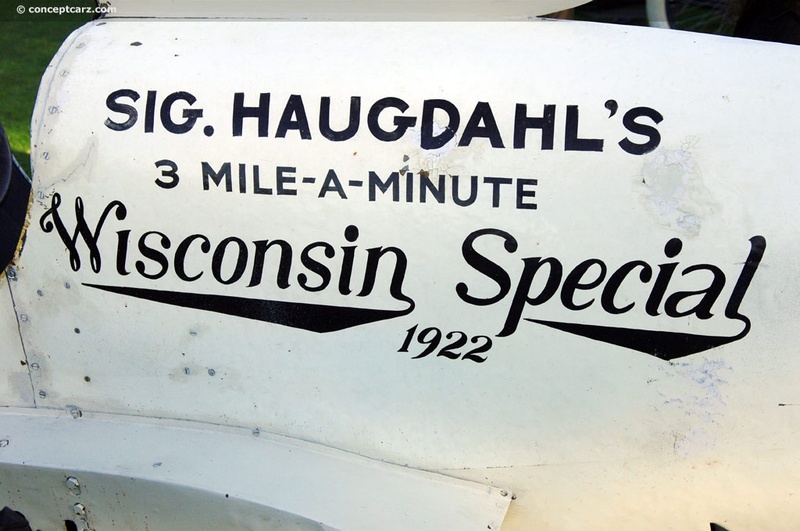 It took 169 days of fierce competition, traveling across difficult and treacherous terrain to complete the race for the Flyer. 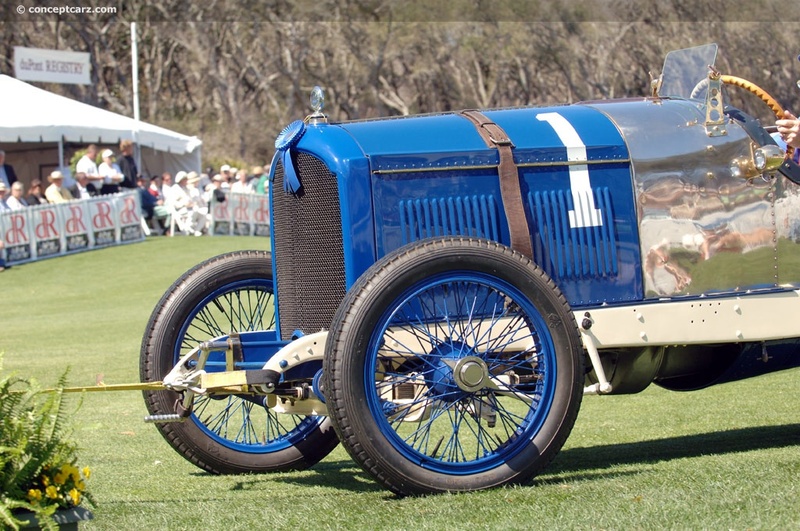 The victory in the Great Race resulted in an increase in sales. 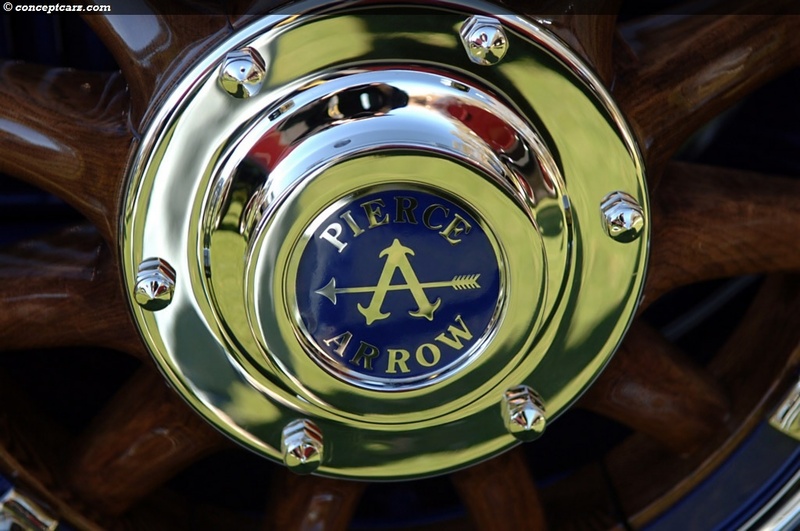 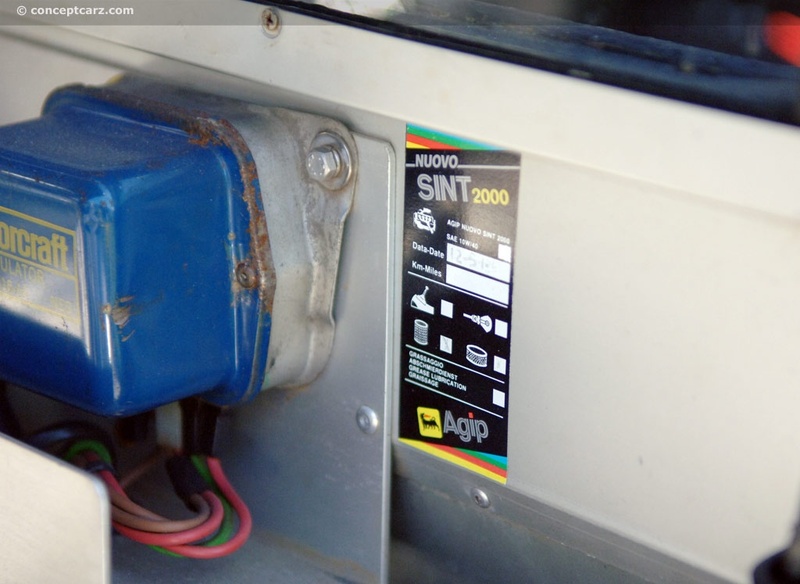 This success was short-lived; within a few years, the company was in receivership. 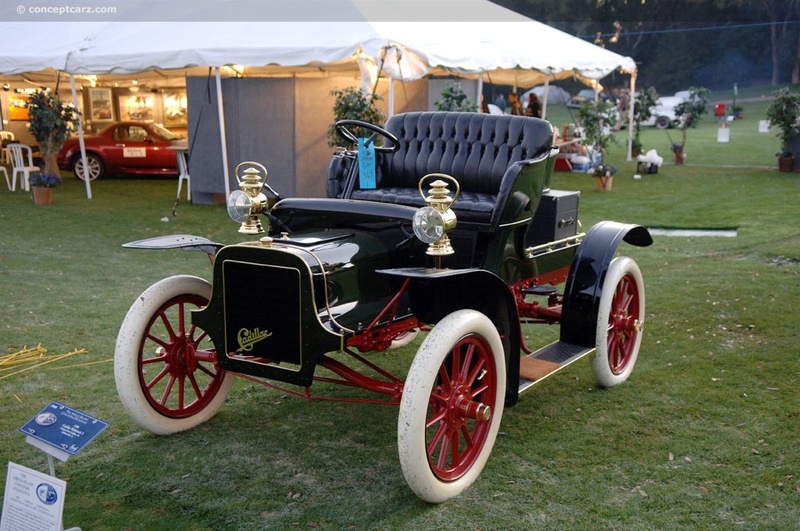 The irony was that Edwin Thomas, the founder of the company, never even learned how to drive a motor car. 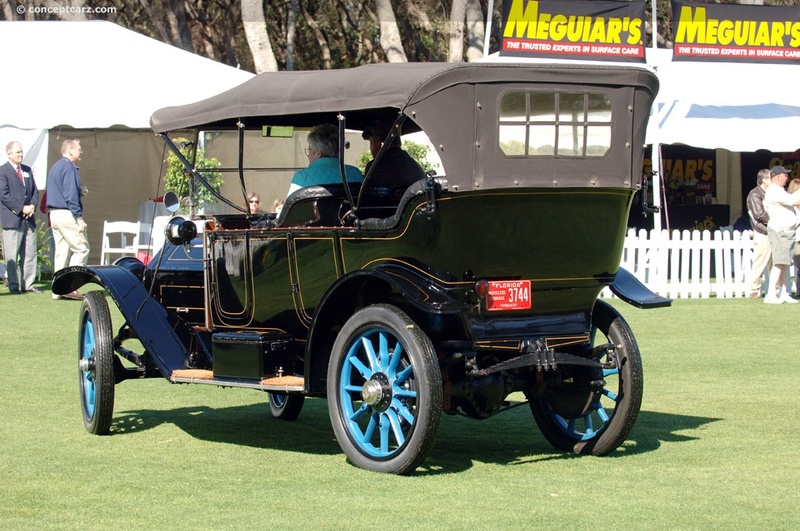 September 16th of this year, GM turns 100 years old. 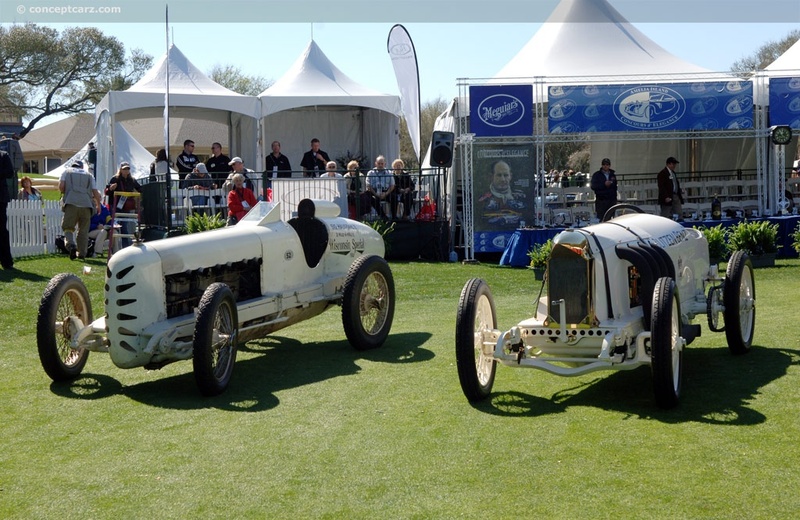 During their existence, they have revolutionized the auto industry, achieved many important historic victories and accomplishments, and set countless records. 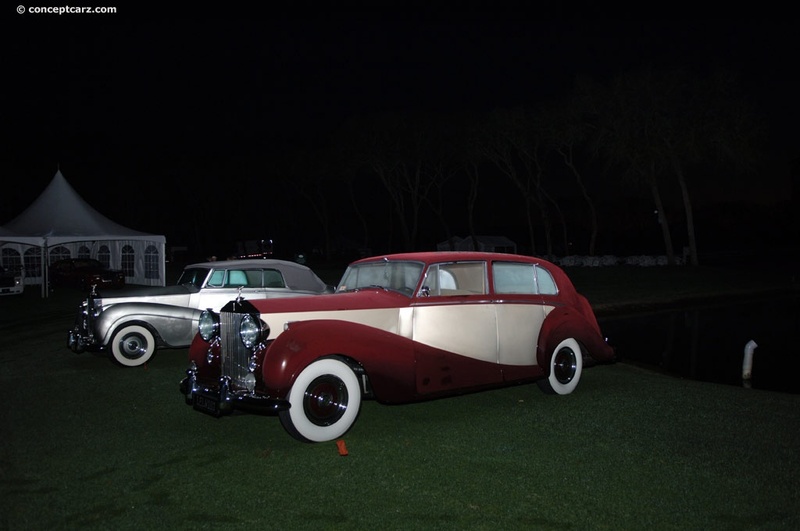 In recognition of GM's heritage and to promote the future of the company, both old and new vehicles were on display. 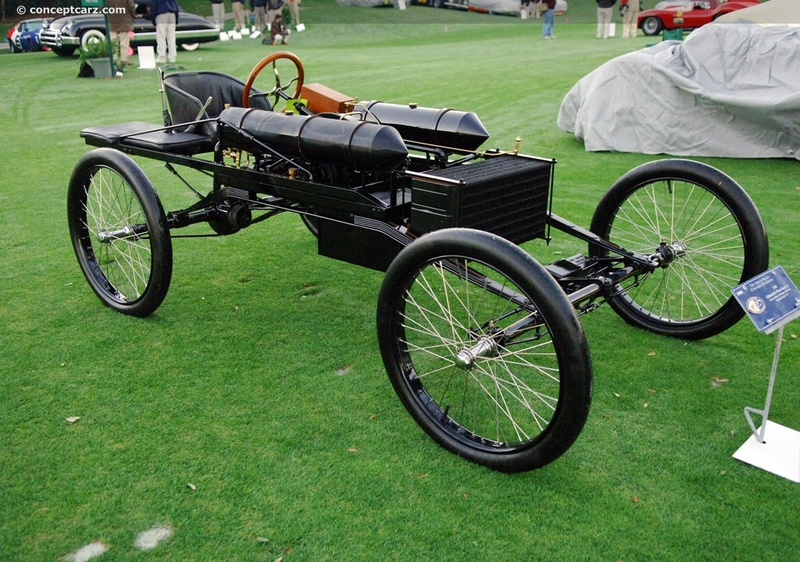 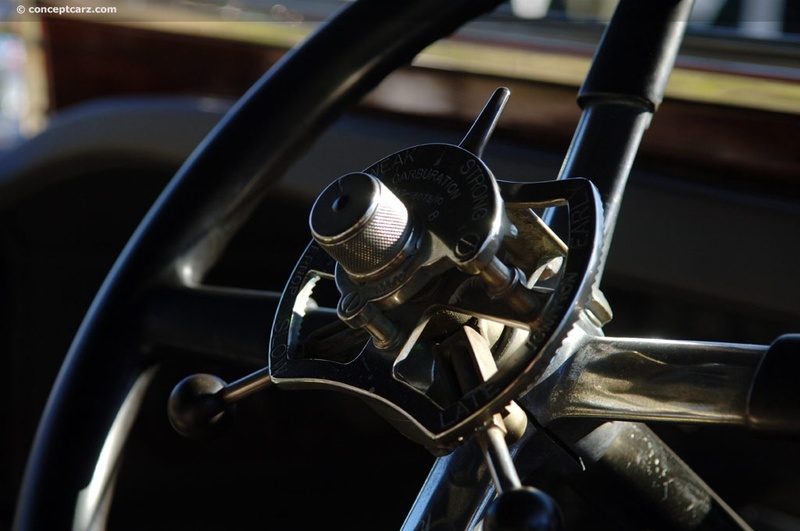 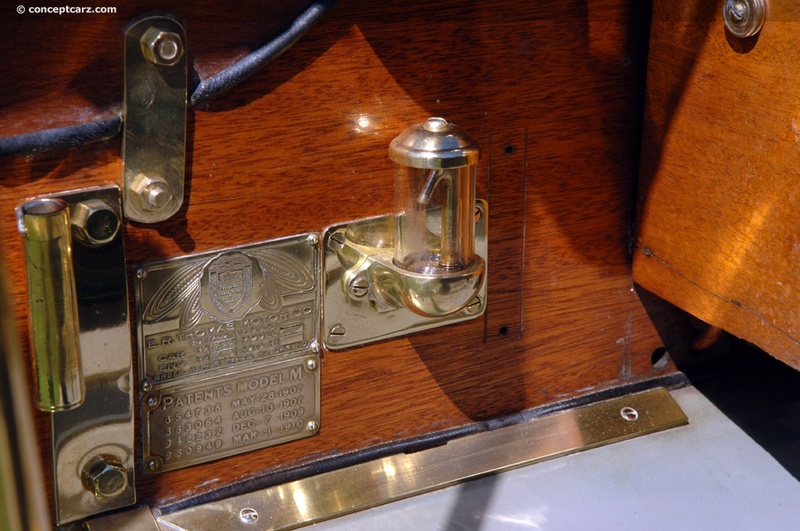 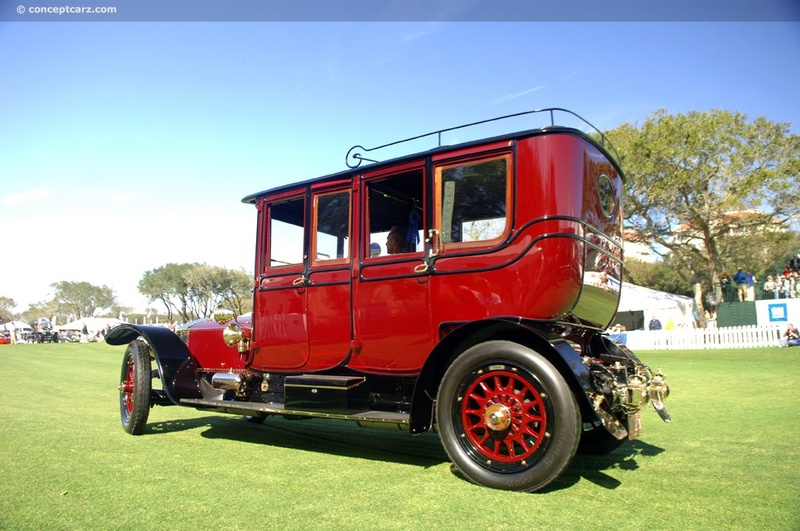 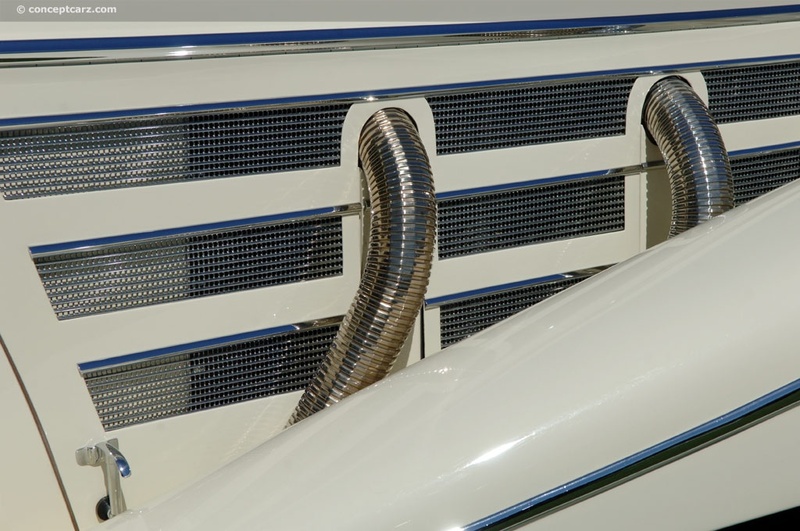 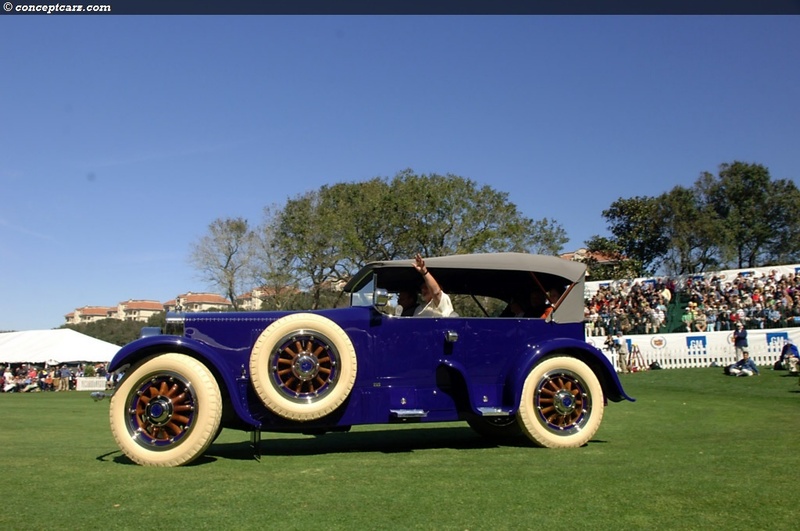 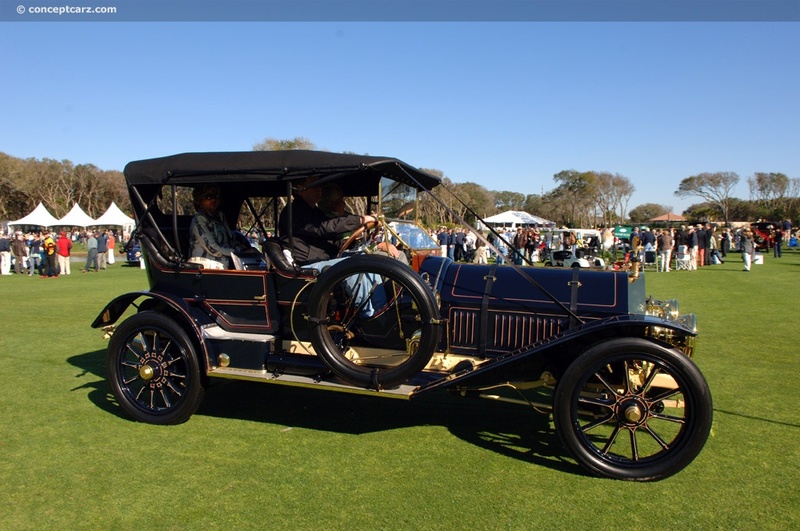 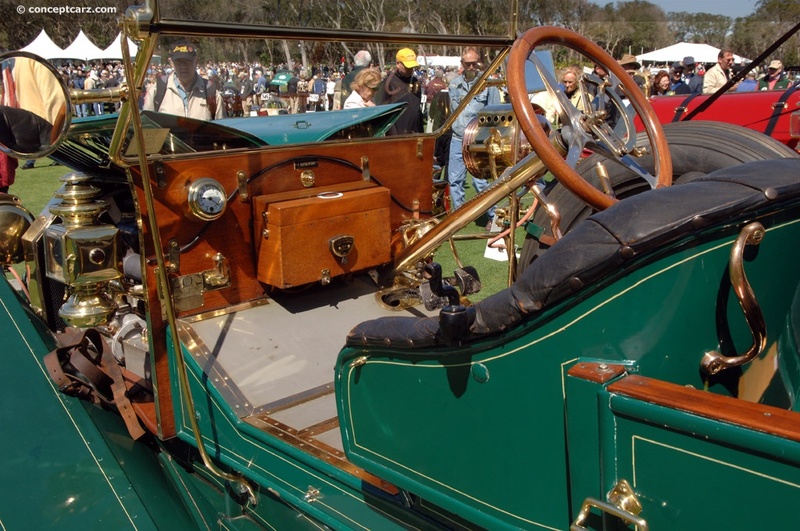 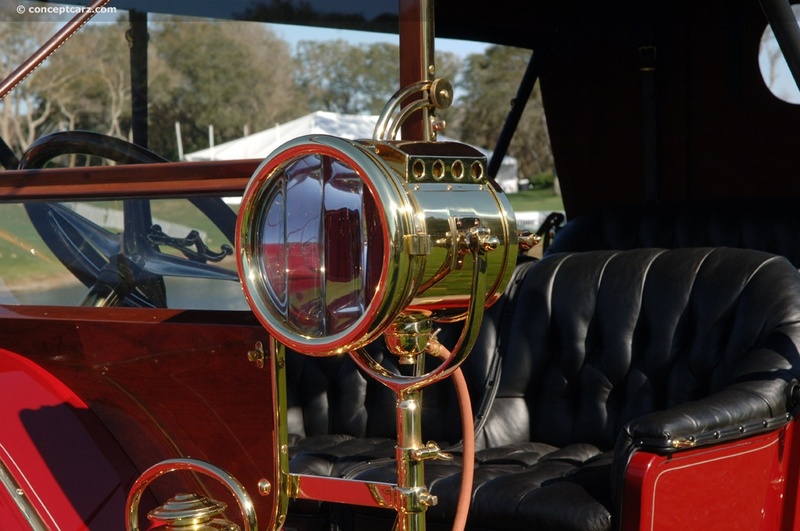 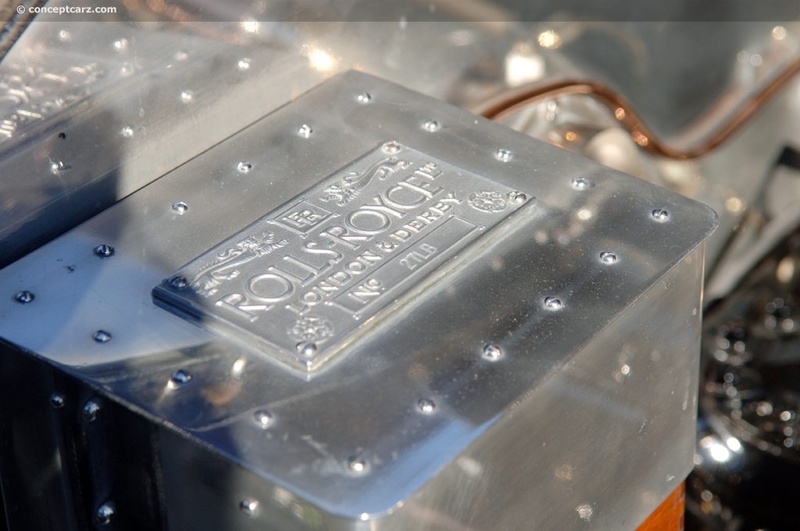 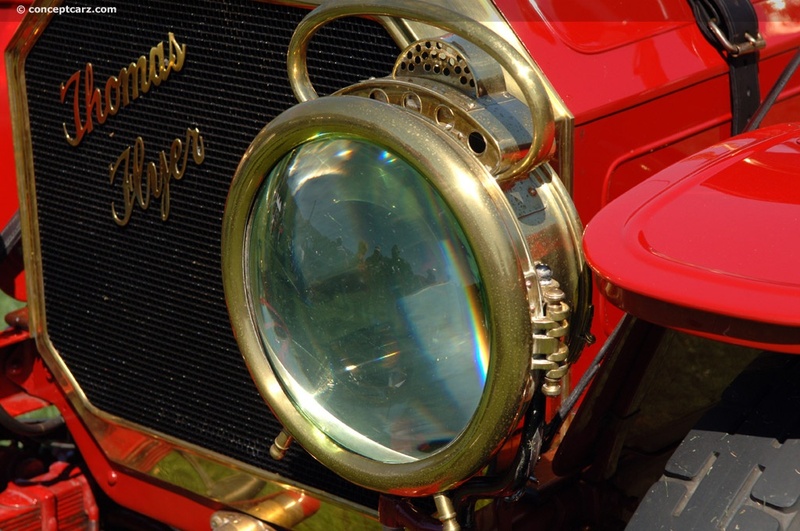 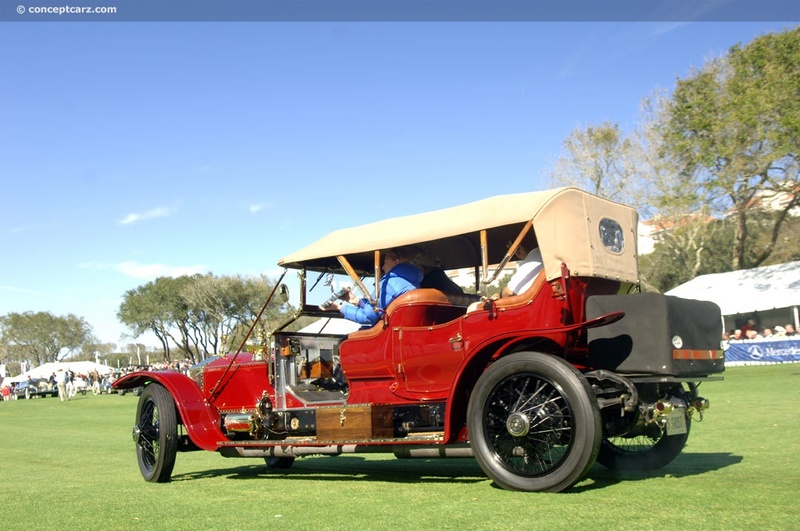 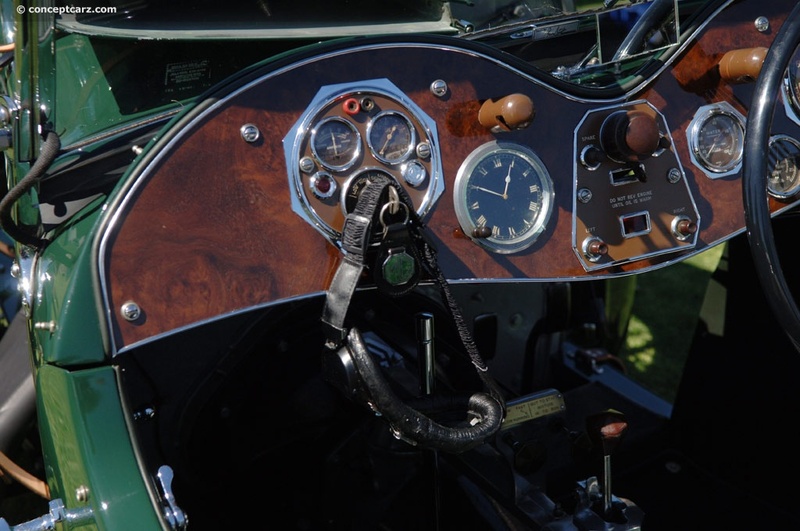 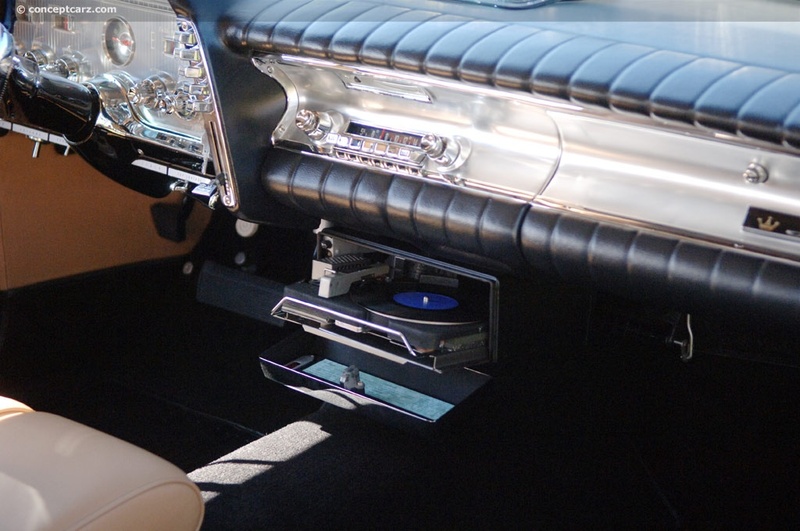 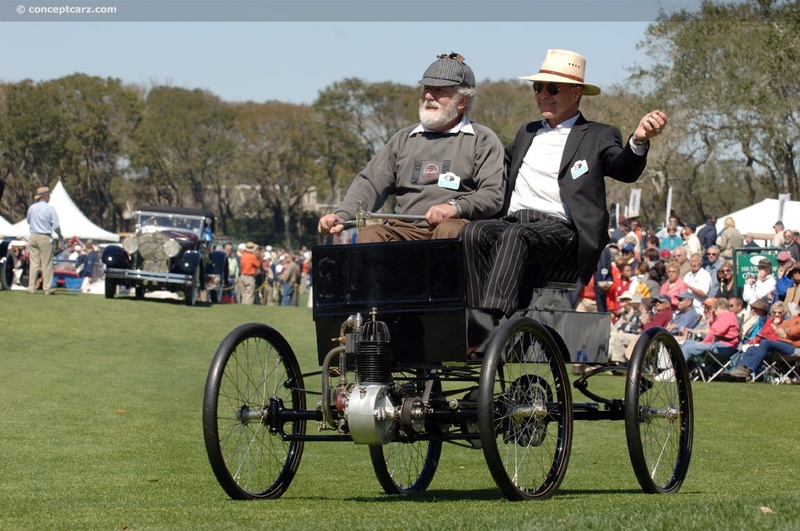 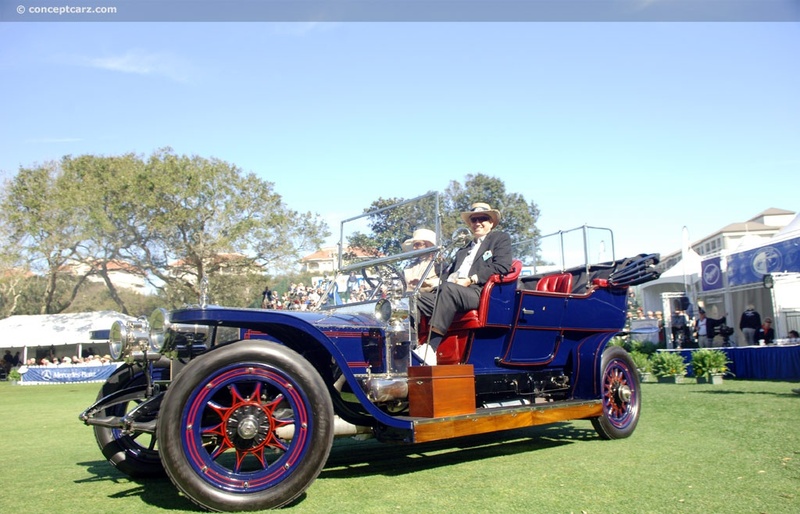 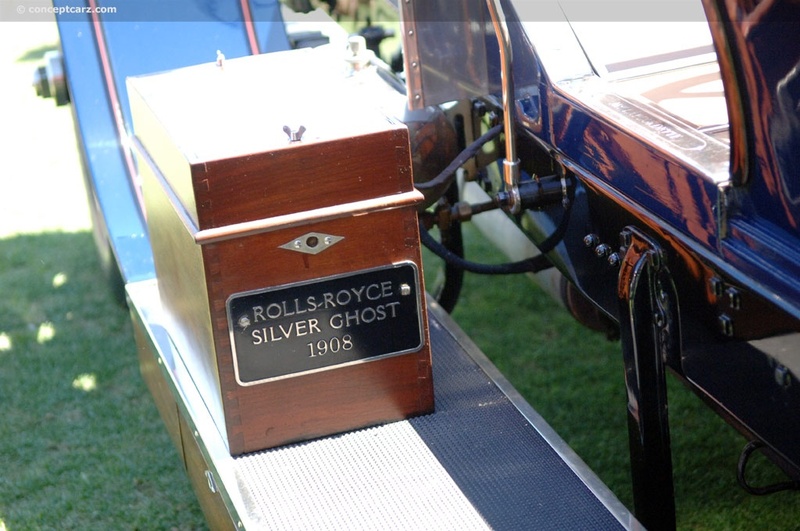 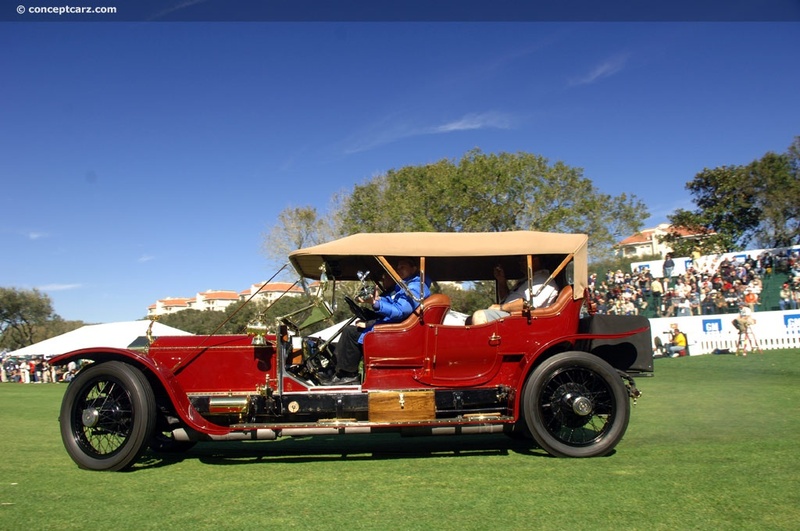 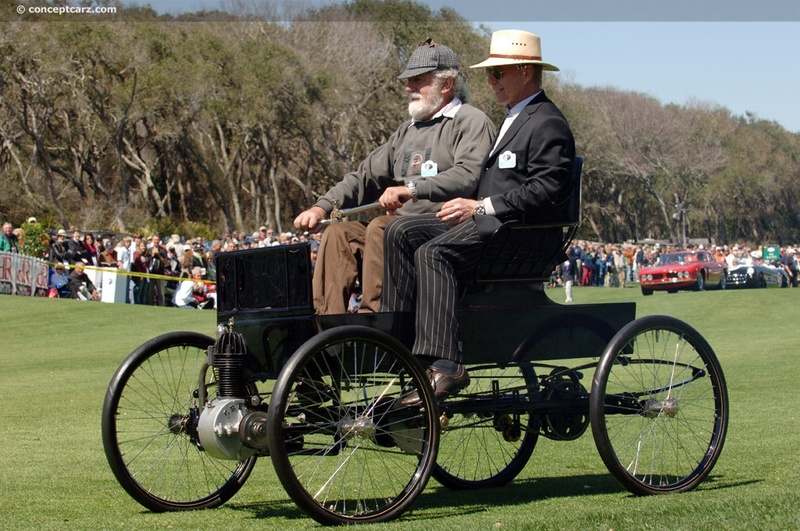 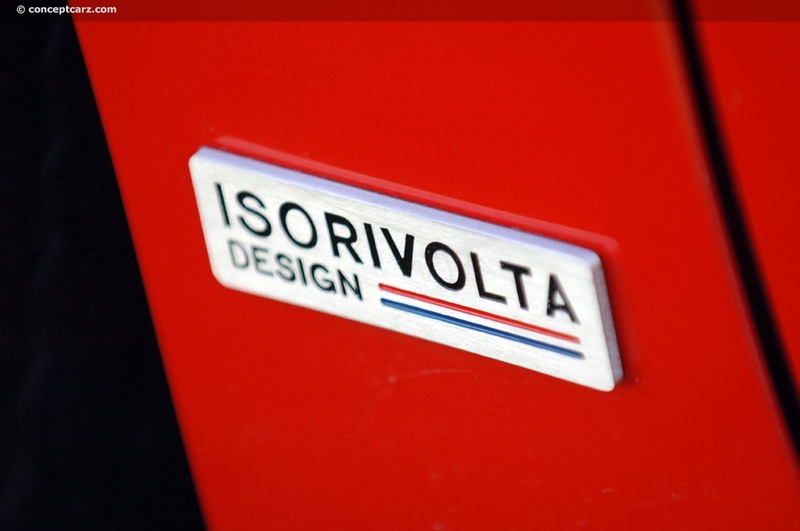 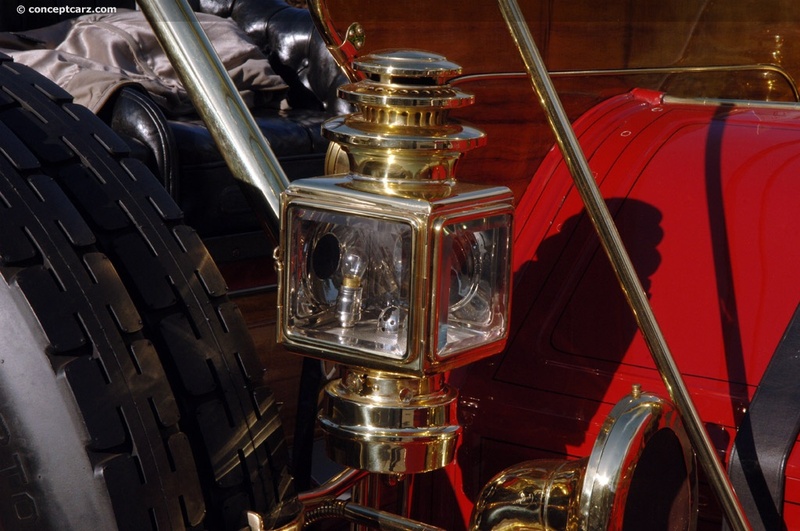 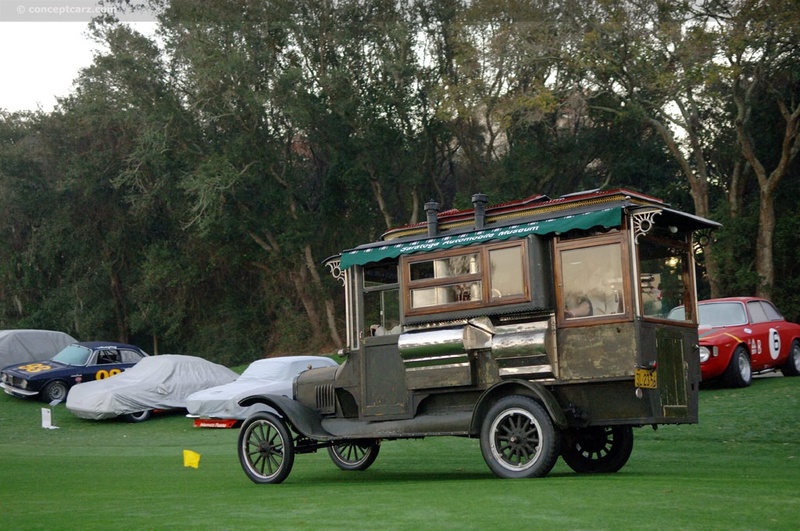 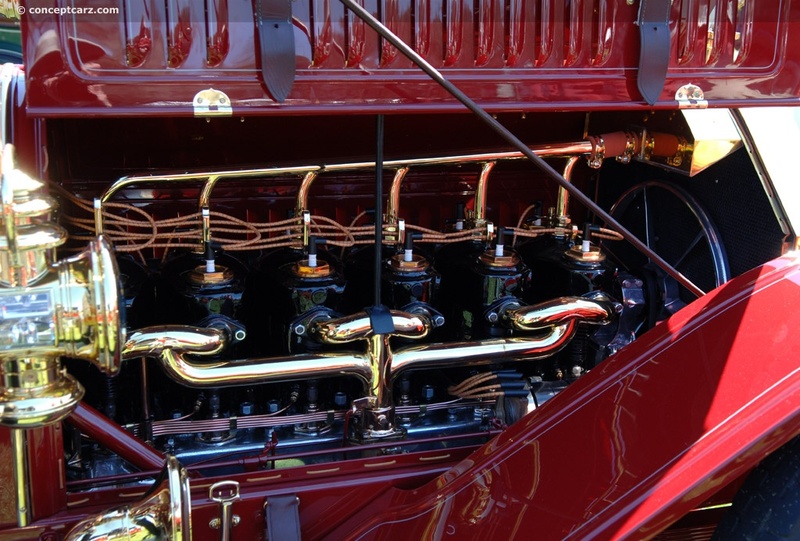 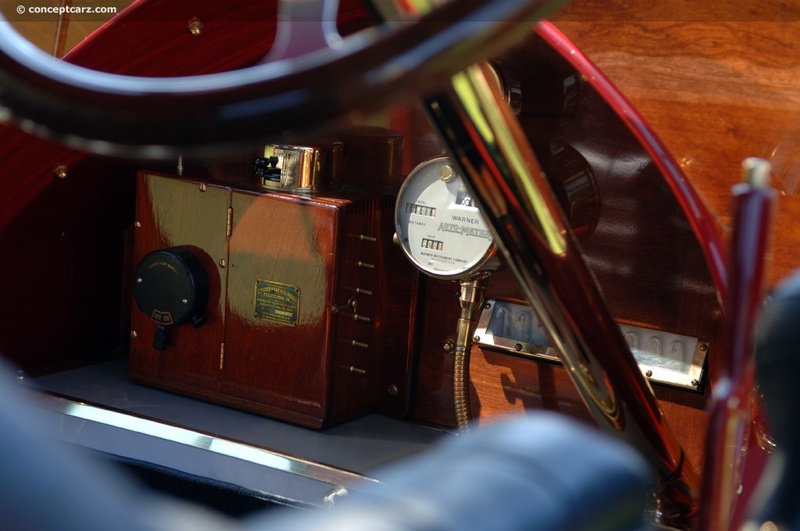 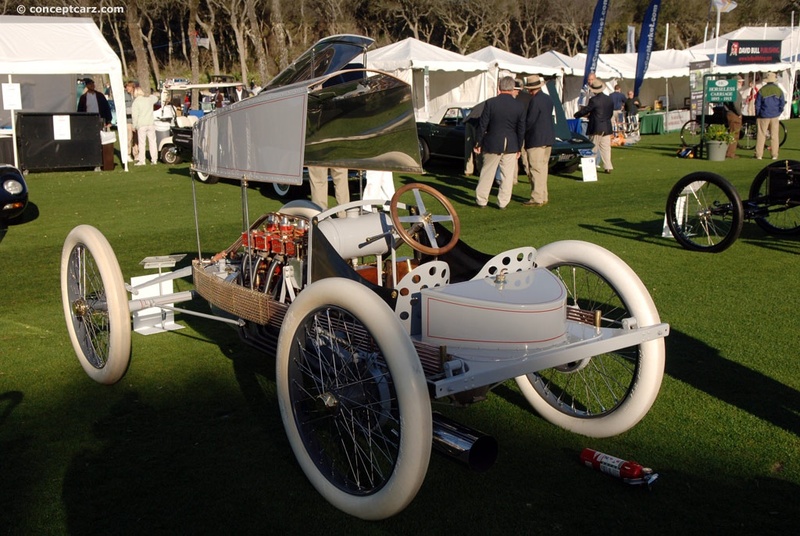 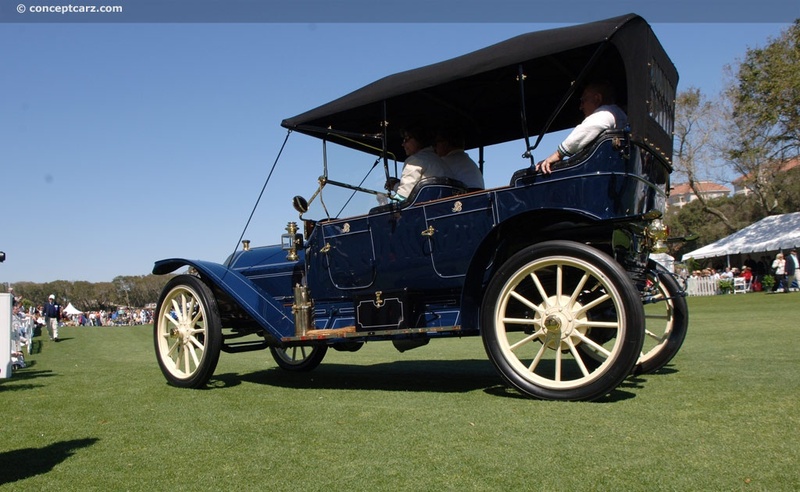 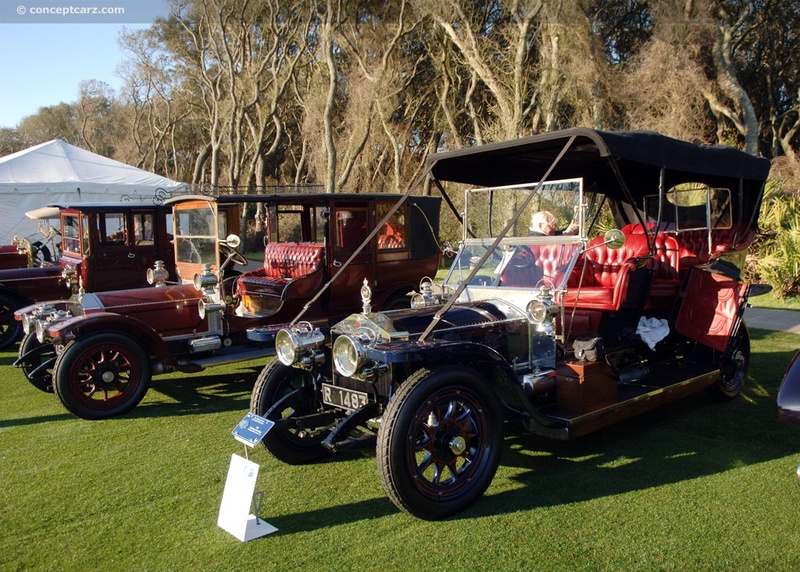 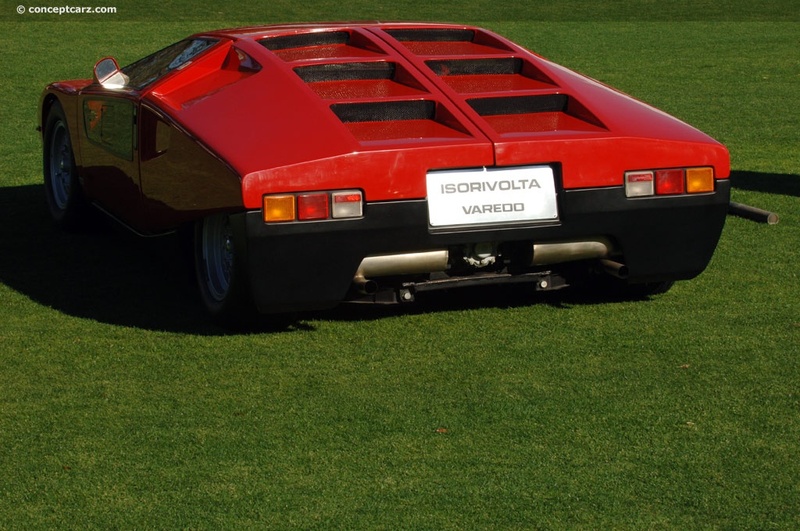 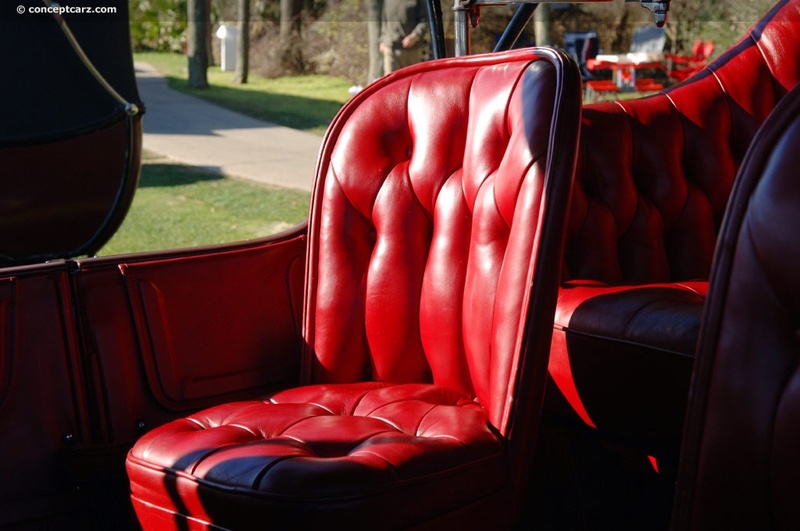 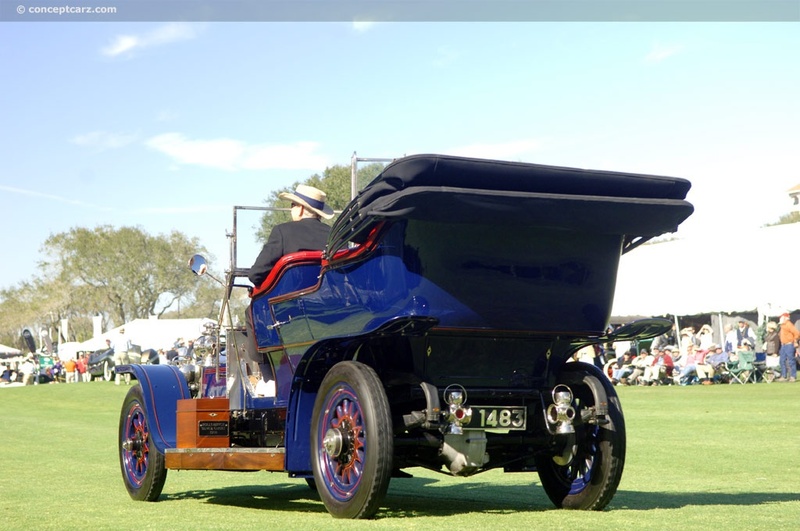 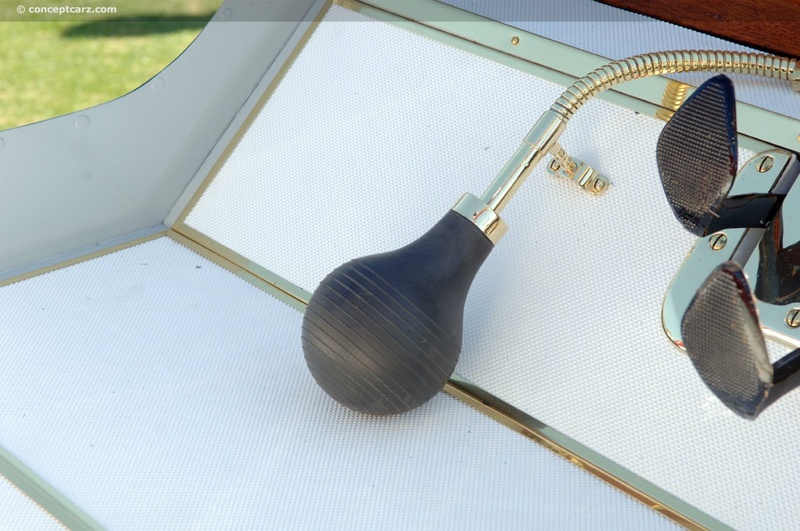 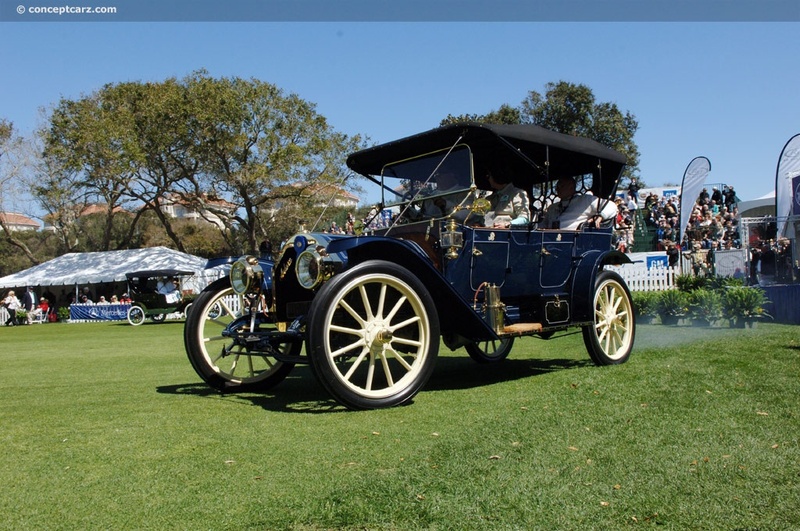 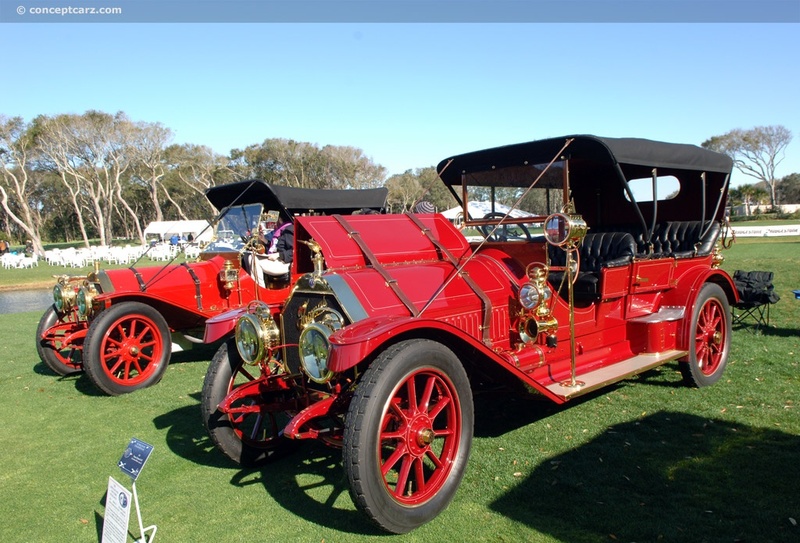 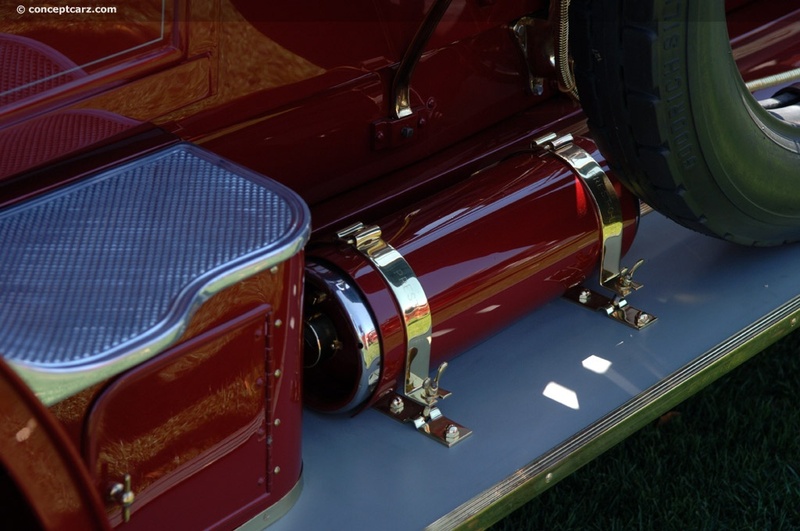 The earliest was a 1906 Cadillac with the most modern being hybrid-powered cars and SUVs, some of the latest technology being utilized by the marque. 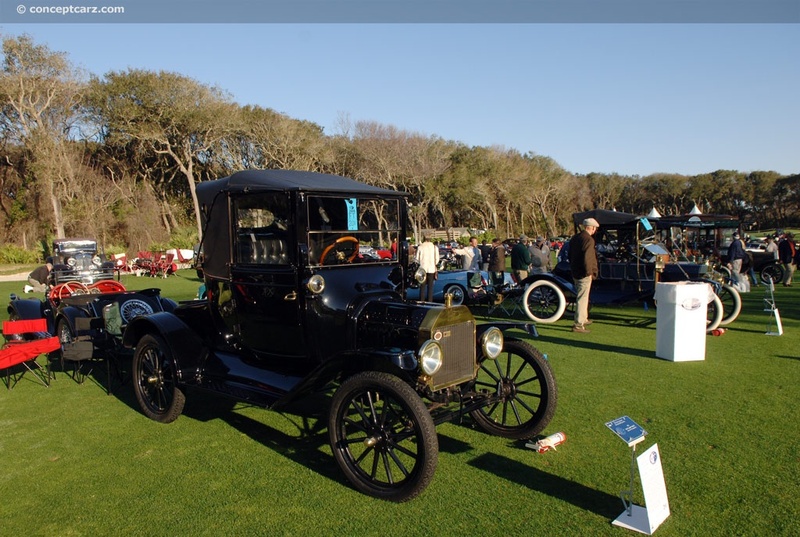 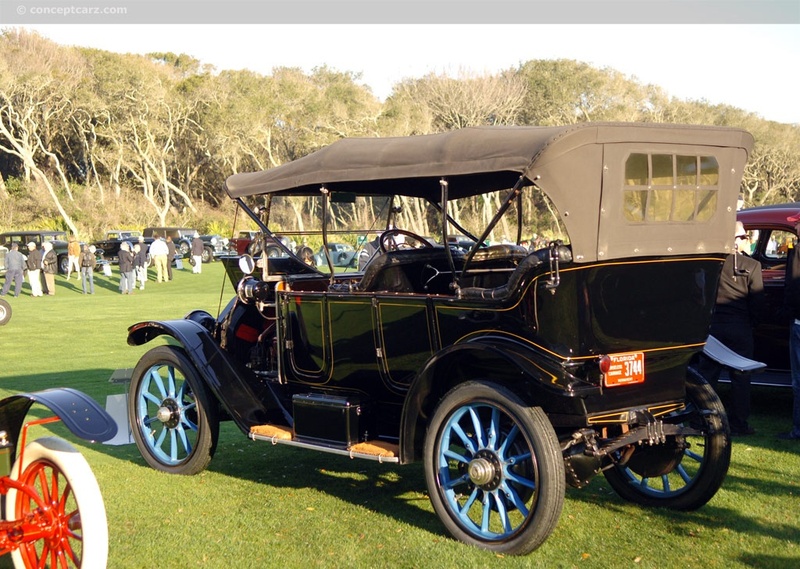 The other 100 year celebration was for the most famous car in the world, the Model T. The Ford Motor Company's history in the auto-industry dates back to 1903 with the first Model T rolling off the line and delivered to the first buyer on October 1st of 1908. 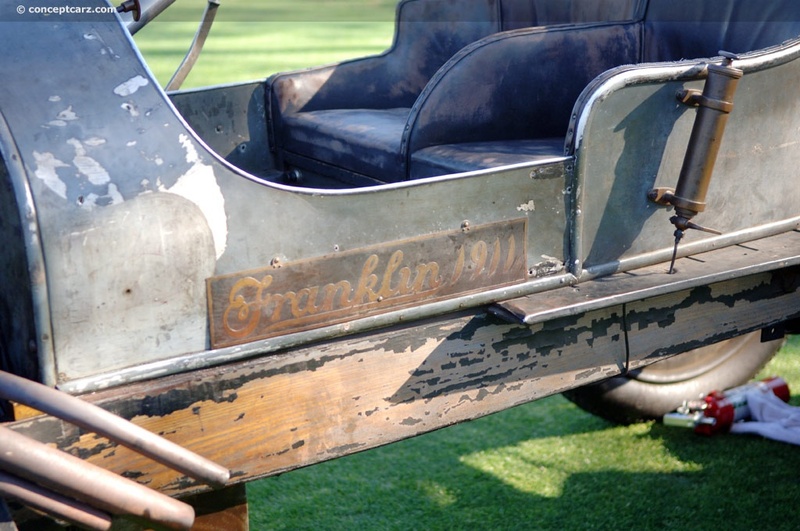 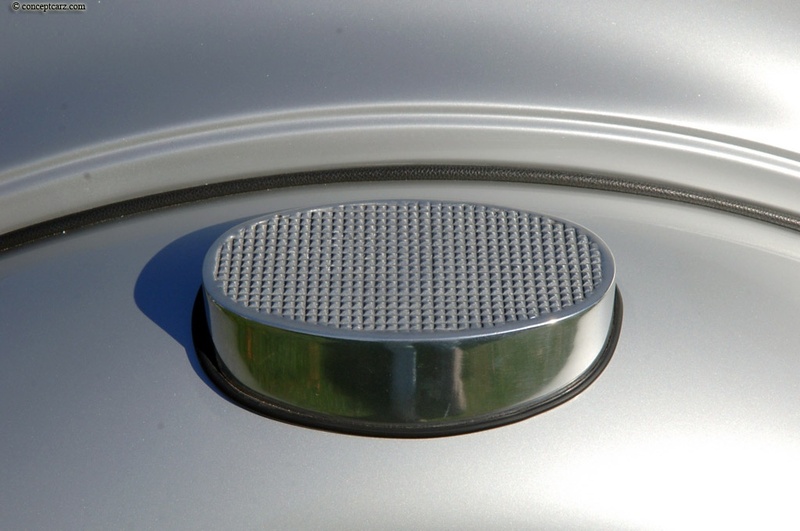 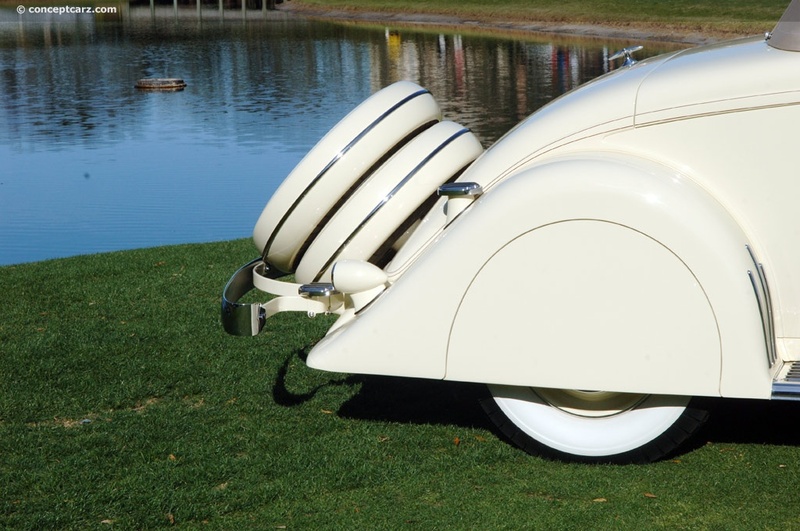 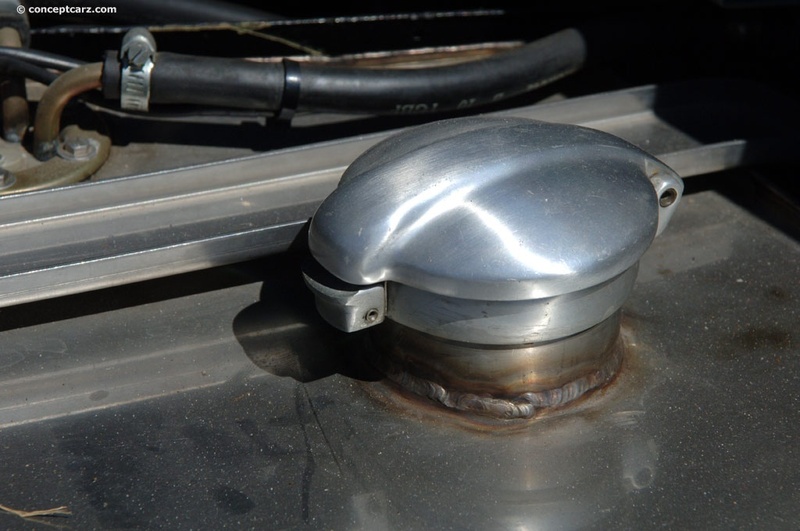 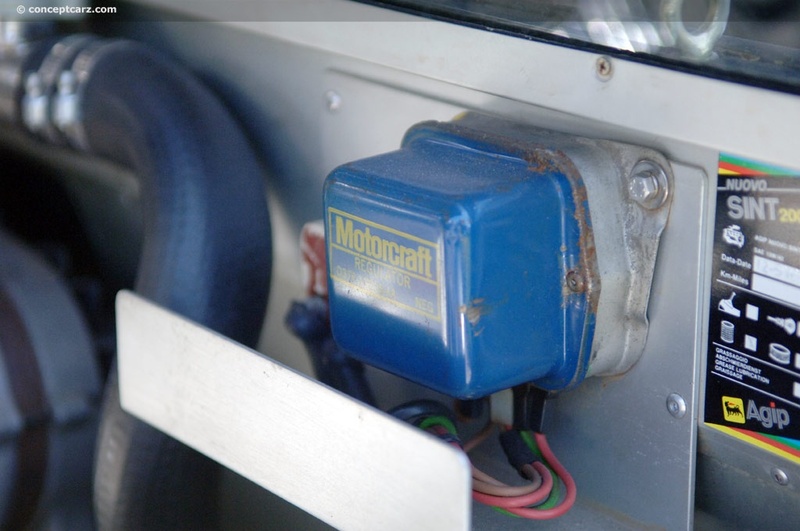 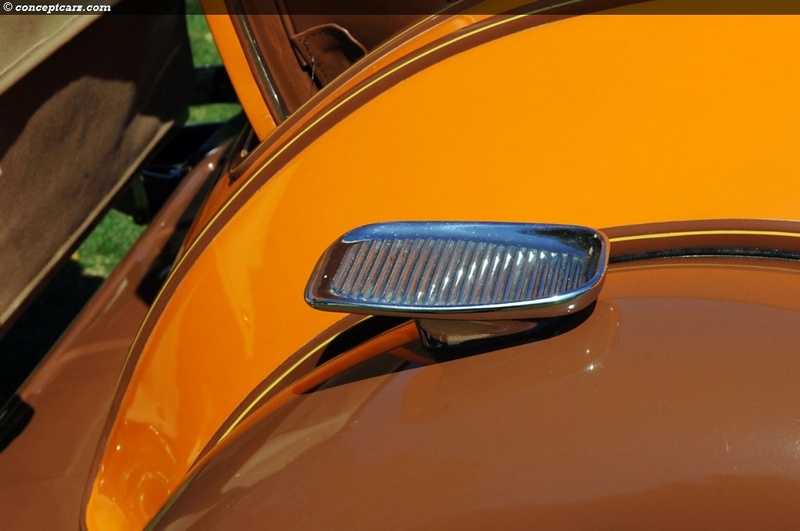 This was the start of the simplistic vehicle that put the world on wheels. 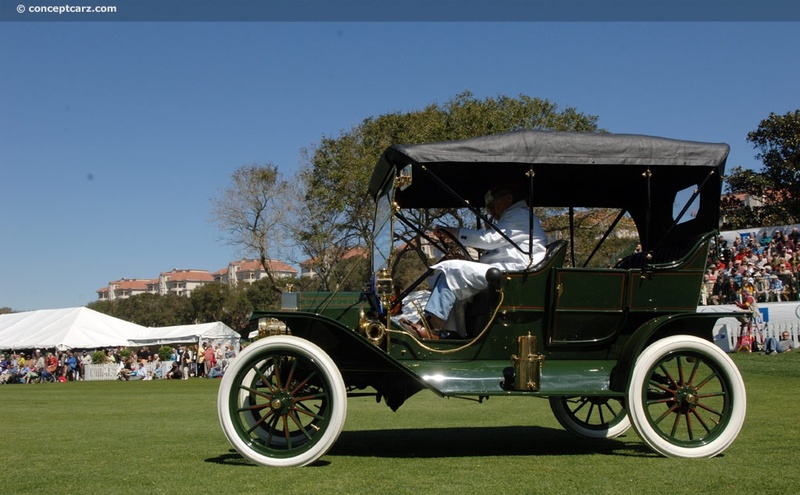 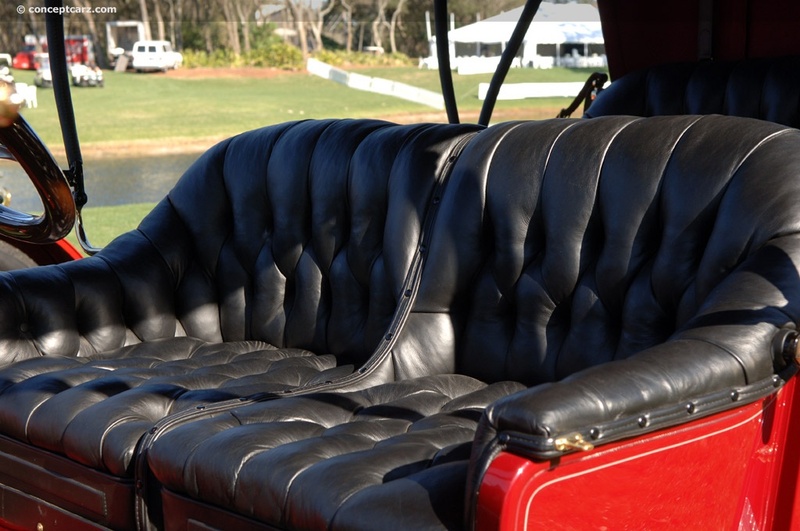 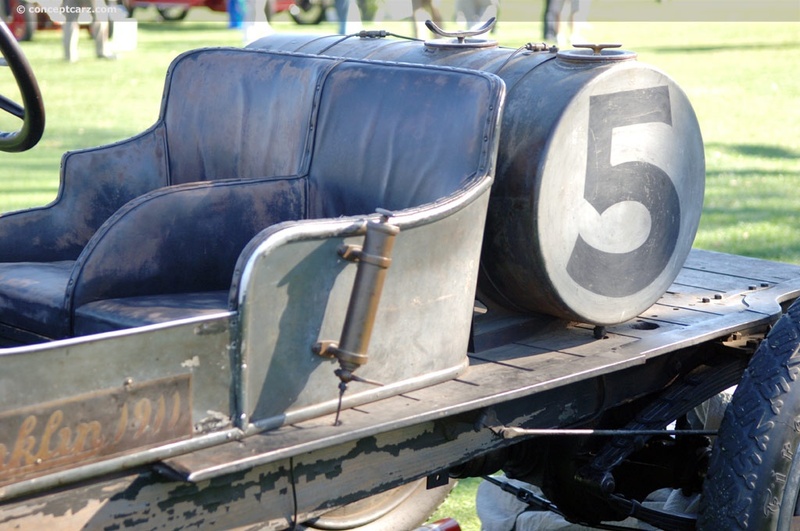 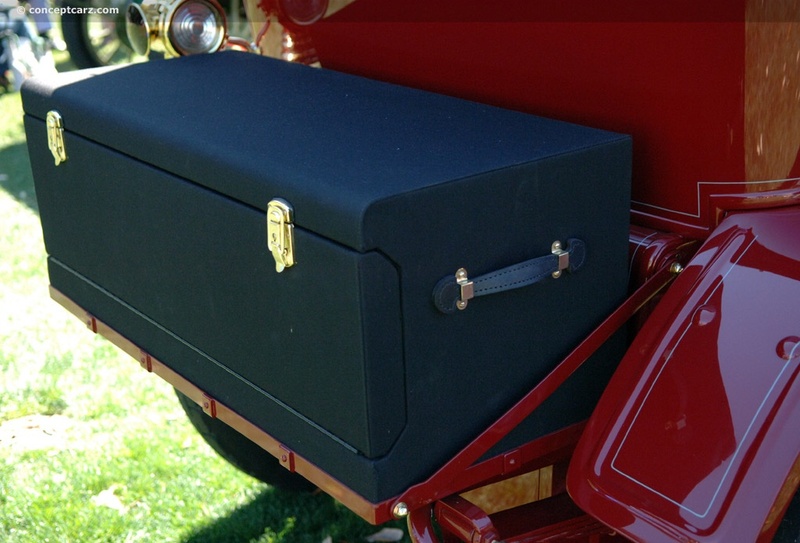 During the 1920s, more than half of all vehicles in the United States were Model T's. 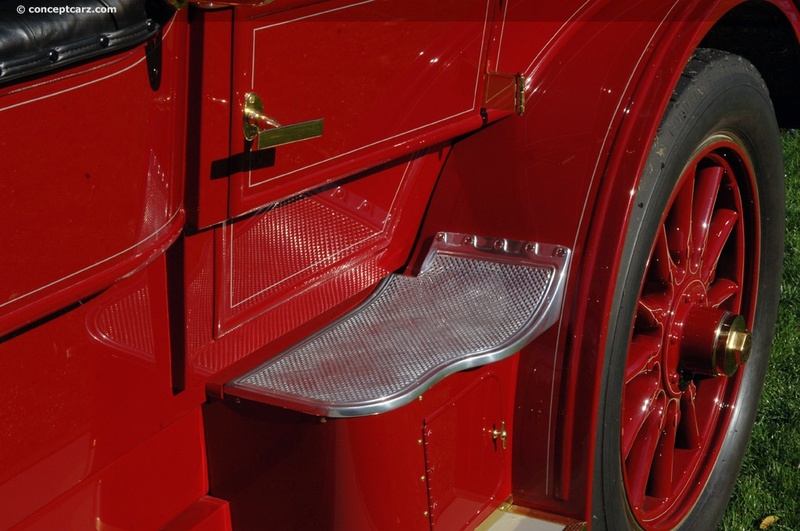 Production of the 'Tin Lizzy' continued until 1928 with well-over 2 million examples created. 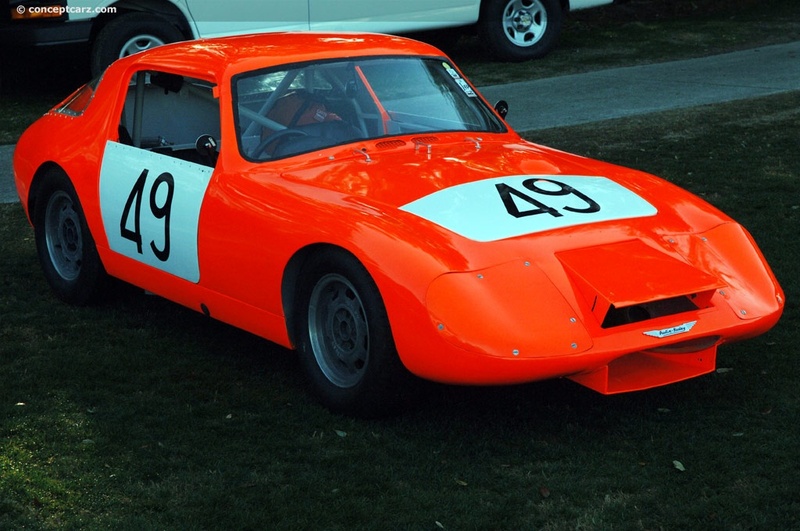 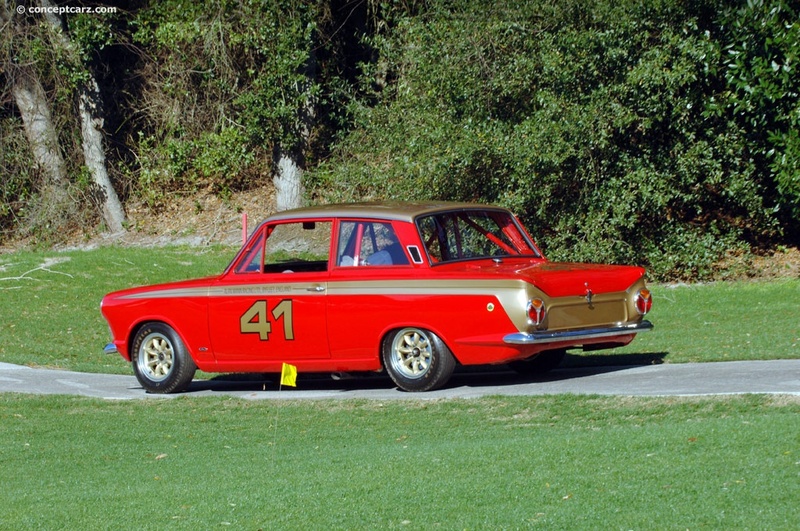 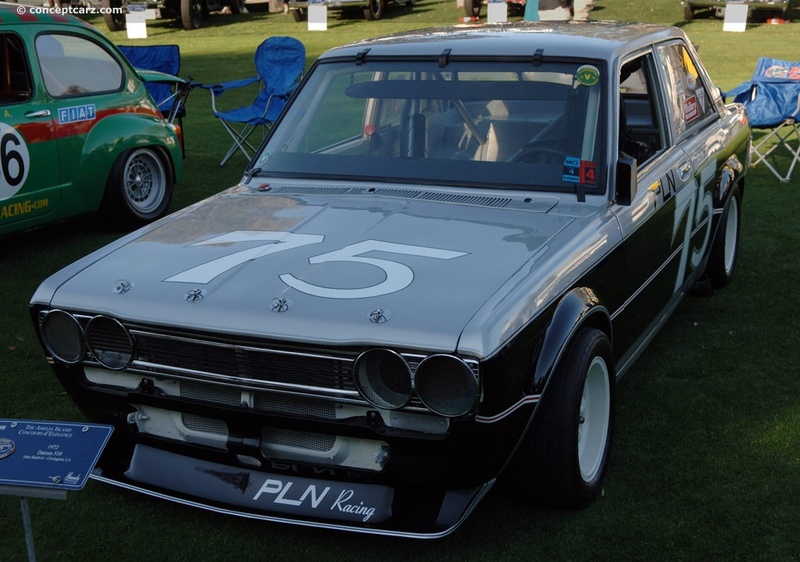 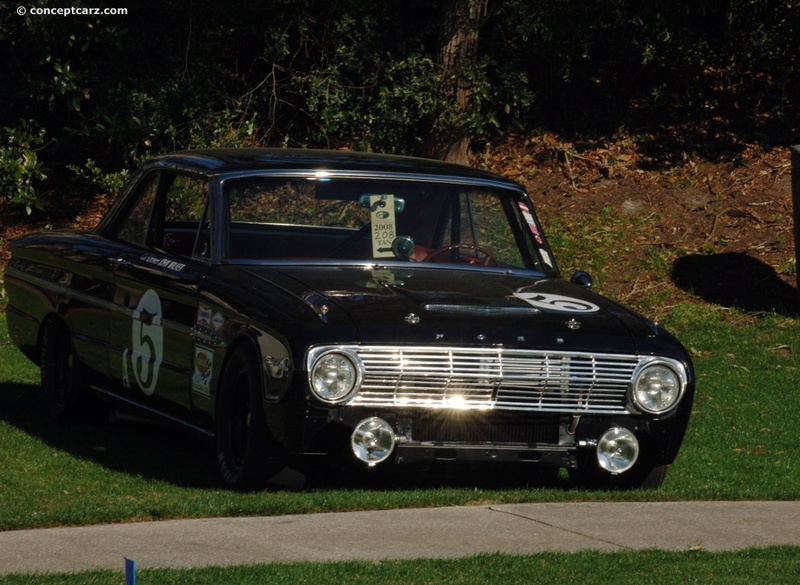 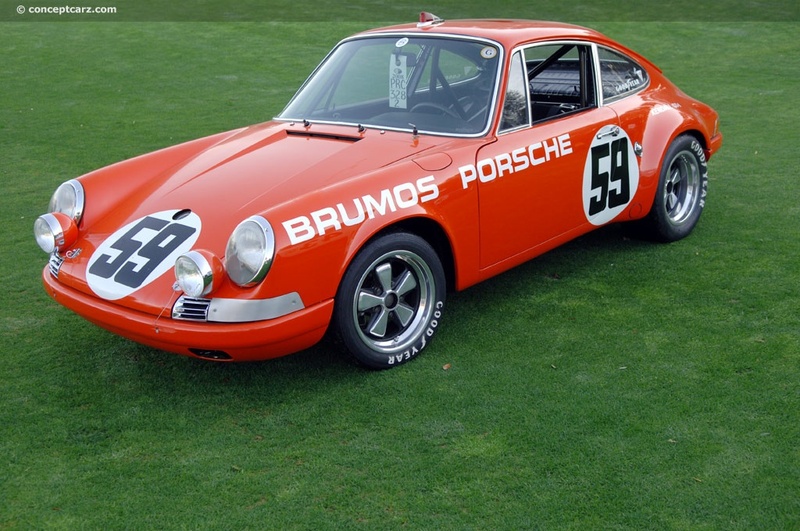 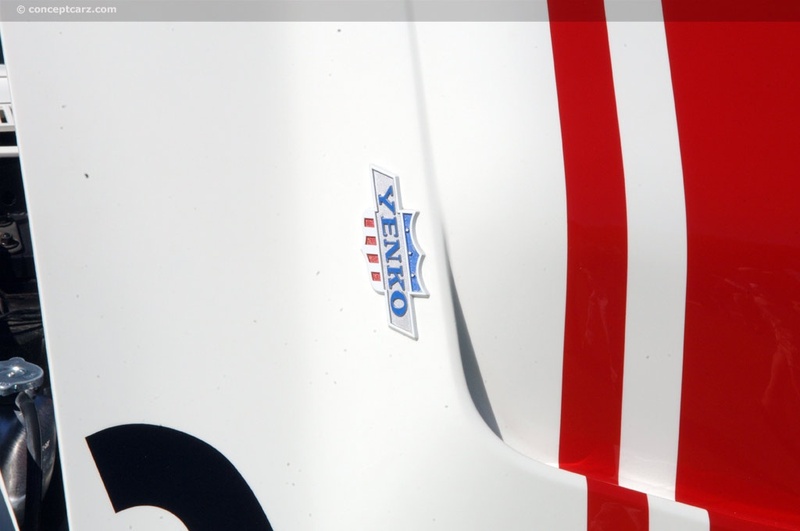 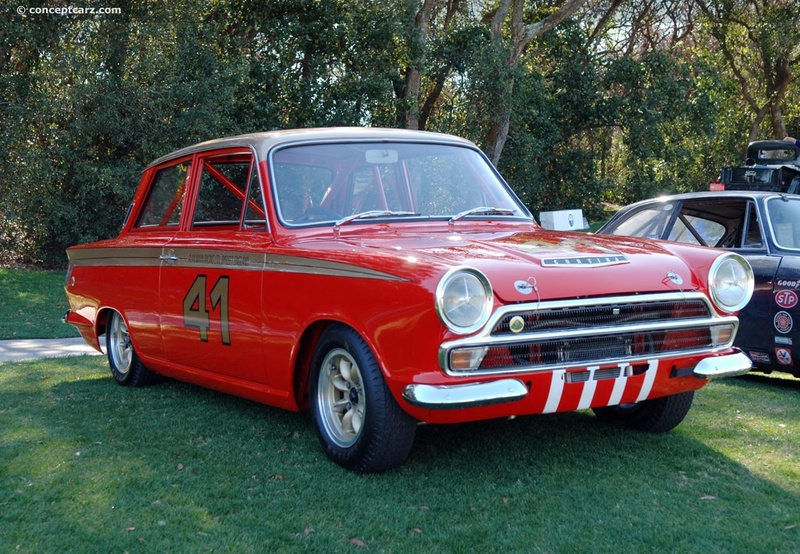 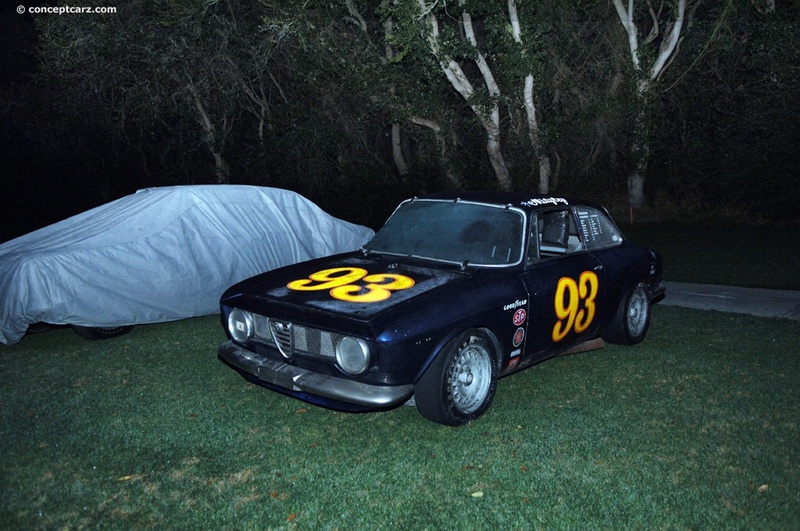 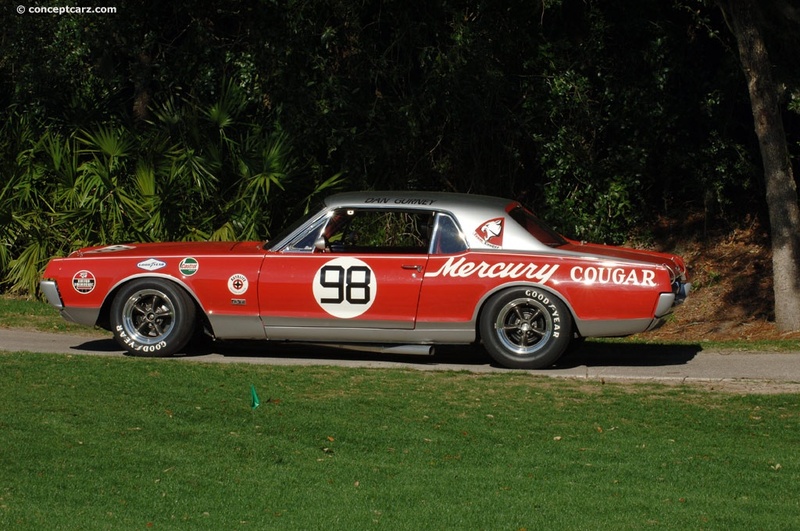 The 'Trans-American Sedan' pro series debuted on March 25th of 1966 as a four-hour prequel to the Sebring 12-hour enduro. 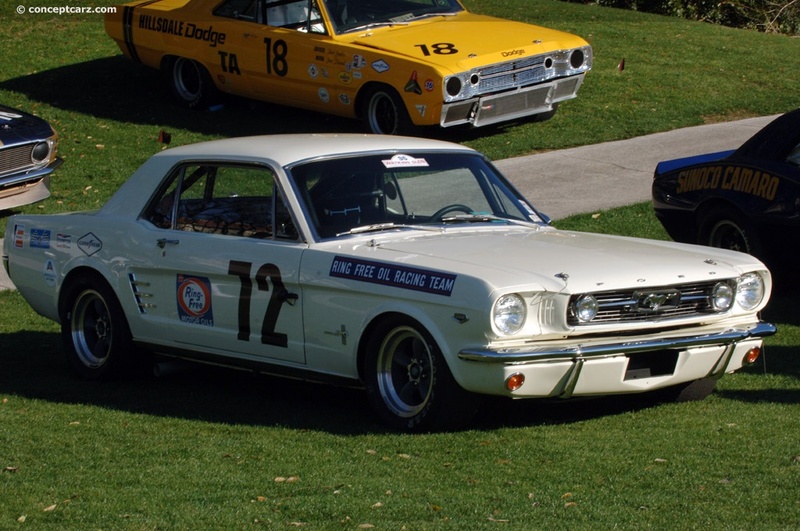 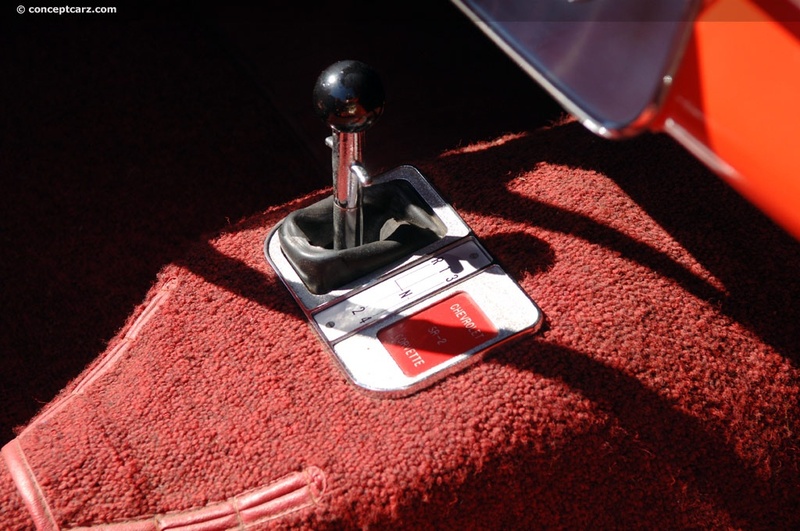 It was a series intended for the pony cars such as the Mustang, Plymouth Barracuda, and a slew of small-bore Eurosedan cars that were athletically inclined and could handle the rigors of left and right 'road' racing courses. 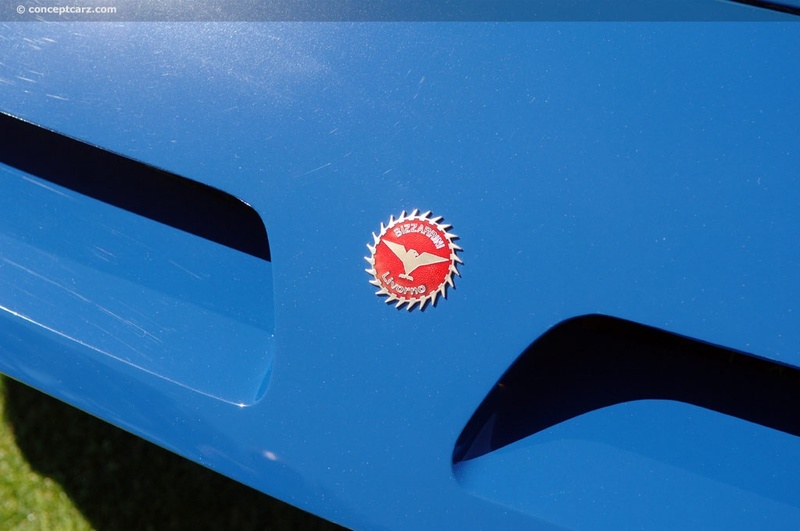 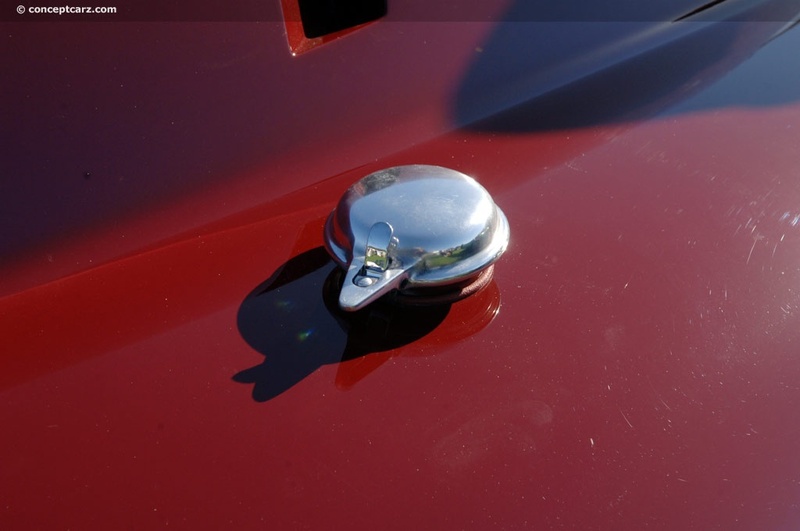 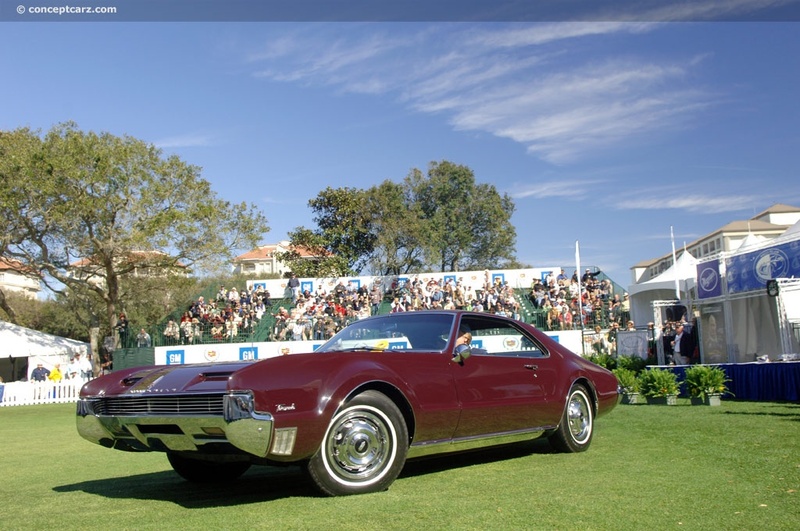 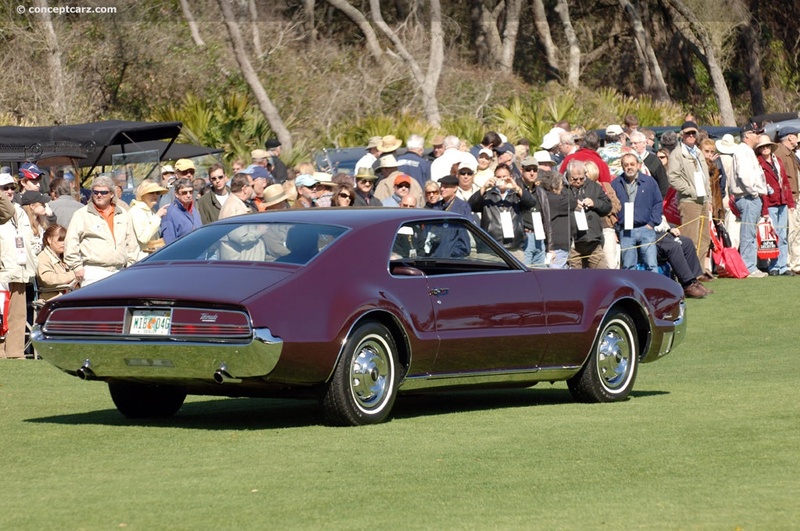 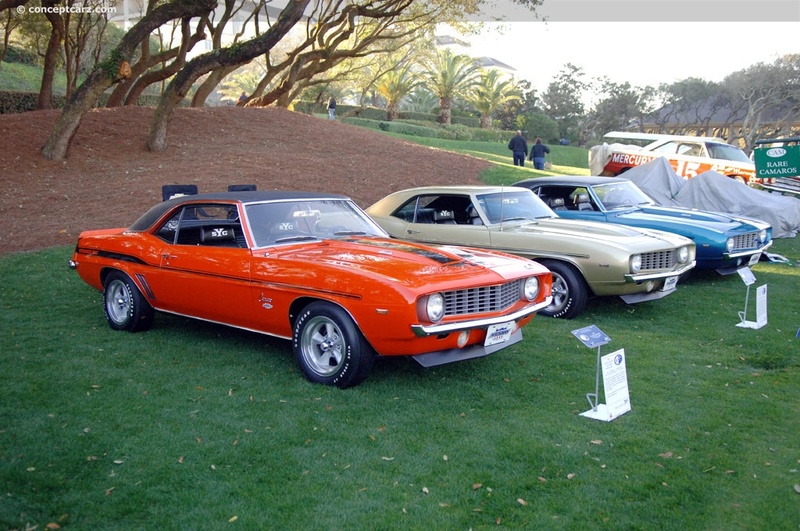 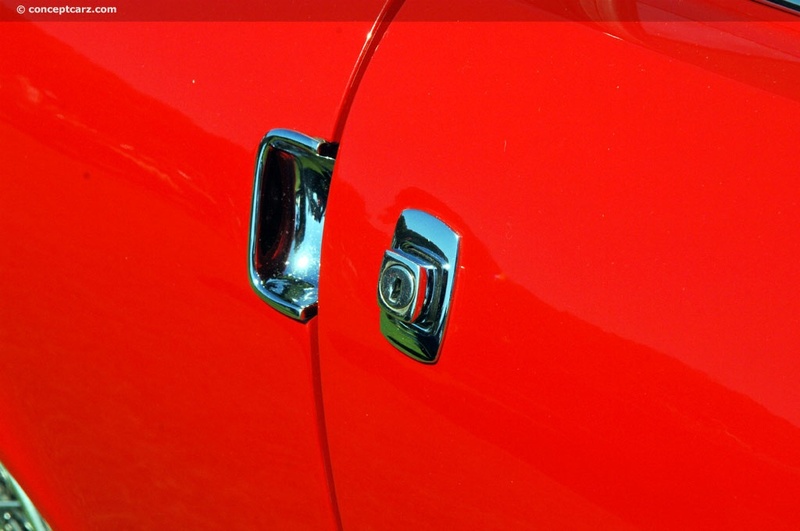 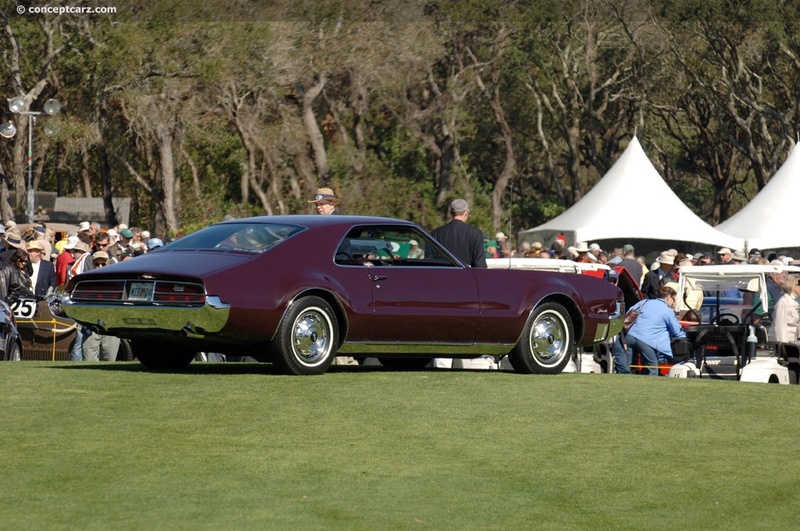 The following year, in 1967, the competition between the ponycars escalated even further, with GM debuting their Camaro, and Pontiac their Firebird. 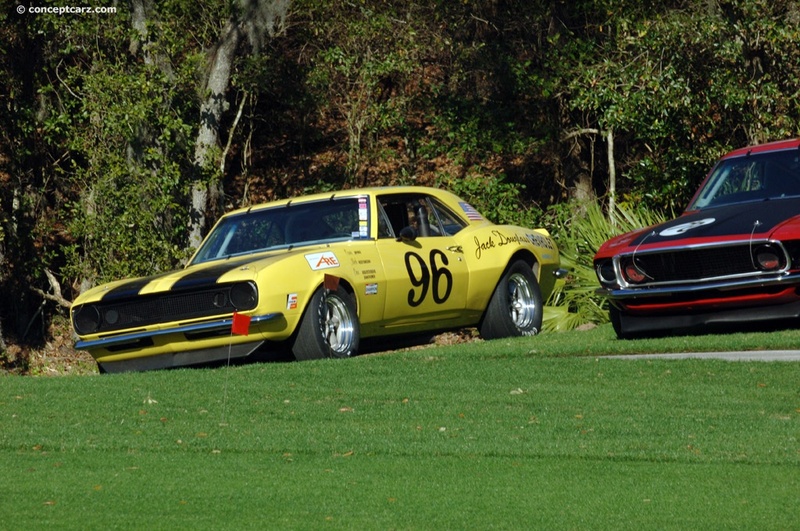 A Mustang based Mercury Cougar and a new Plymouth Barracuda provided plenty of competition to a very full field. 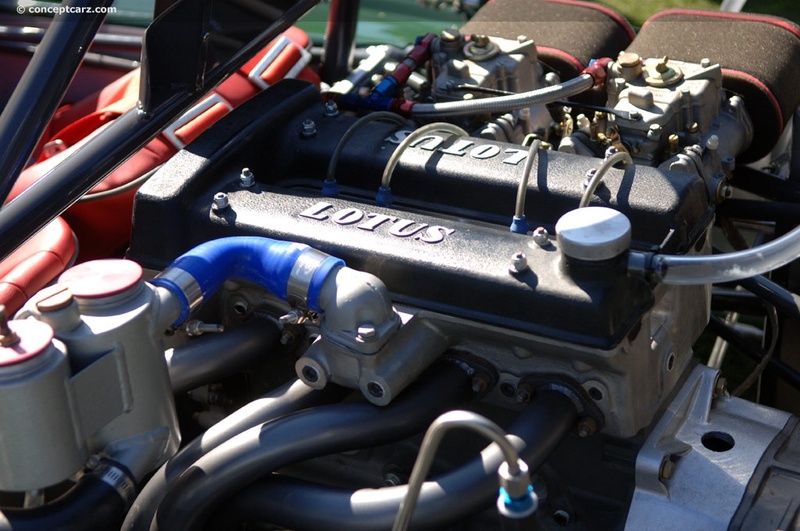 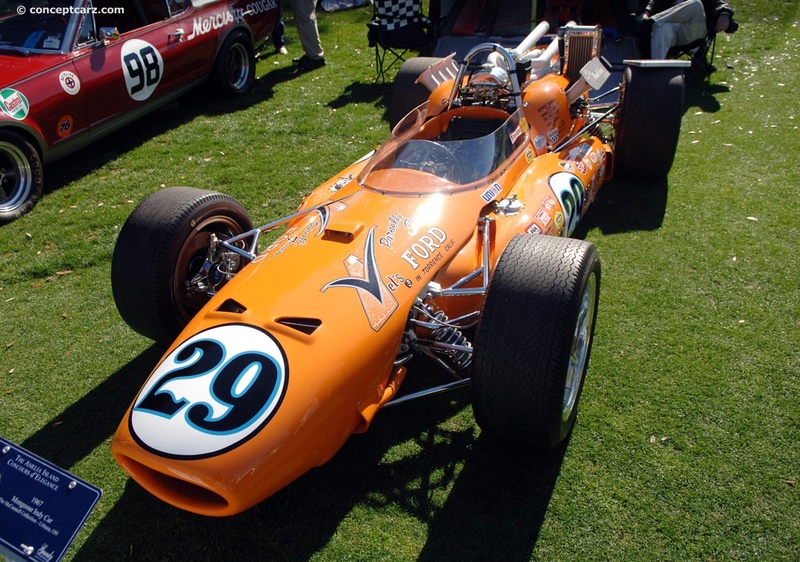 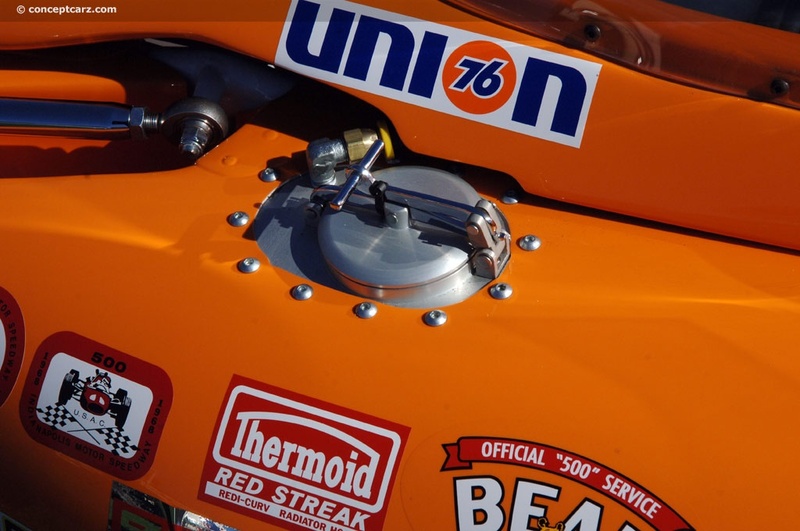 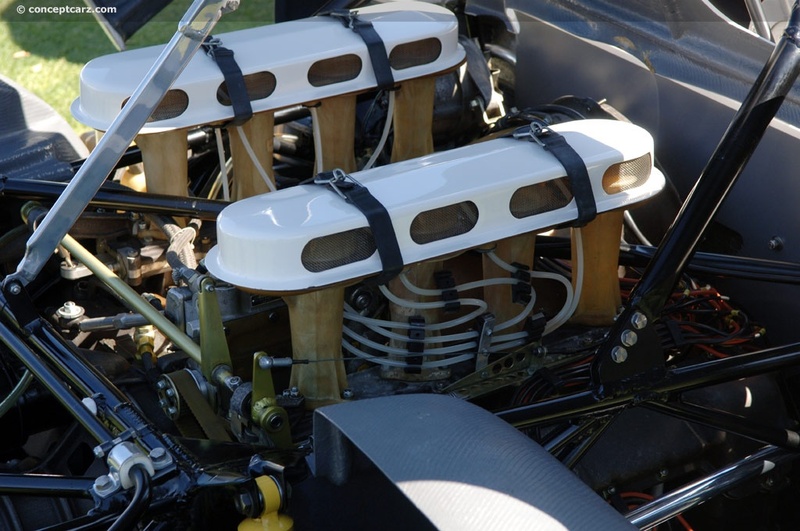 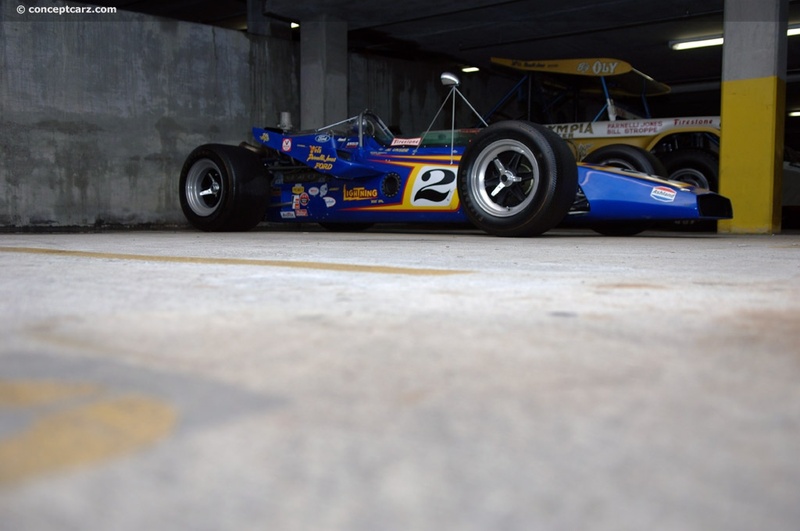 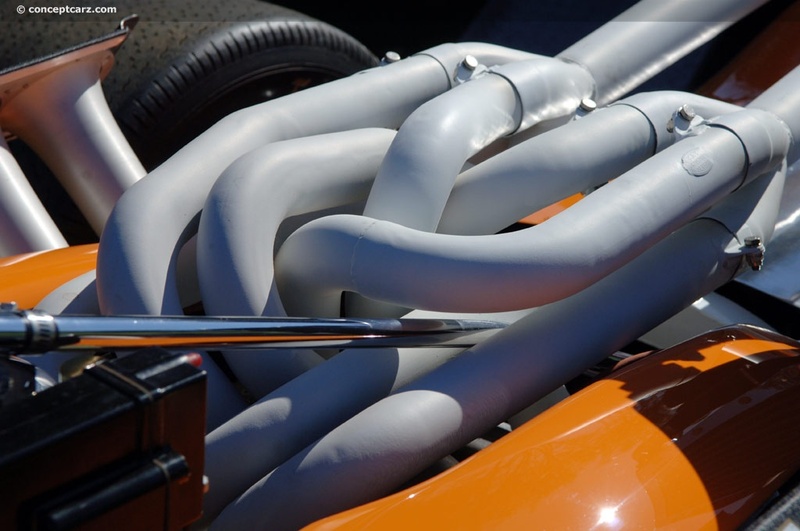 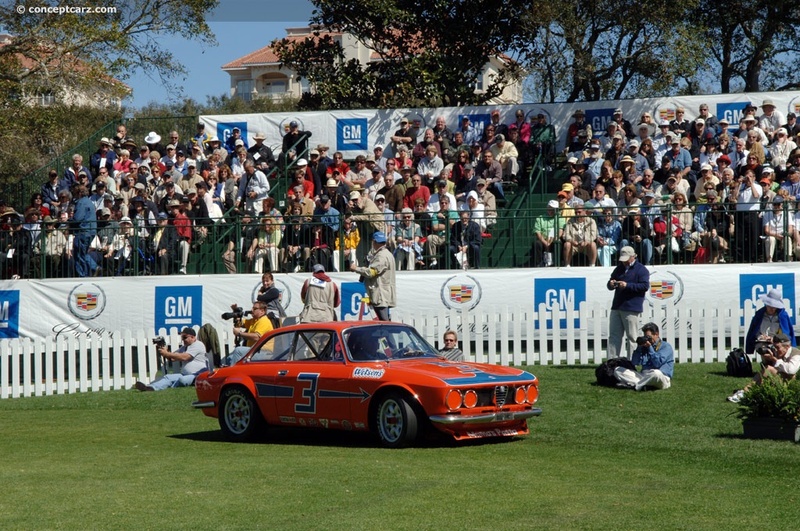 Most major automakers provided factory support and attracted some of the biggest names in racing; the number of races in the series rose from seven to twelve. 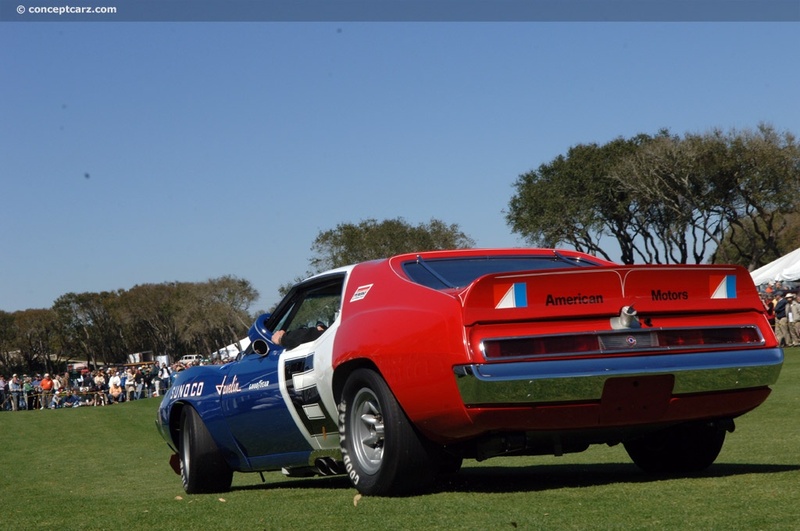 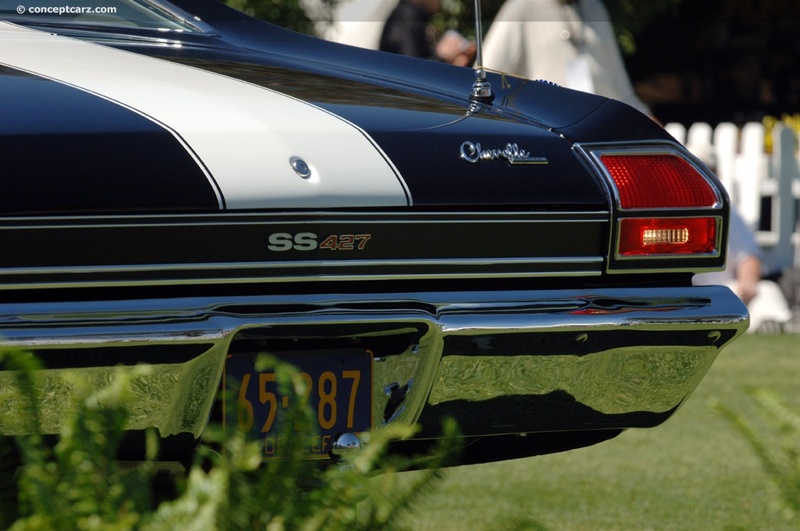 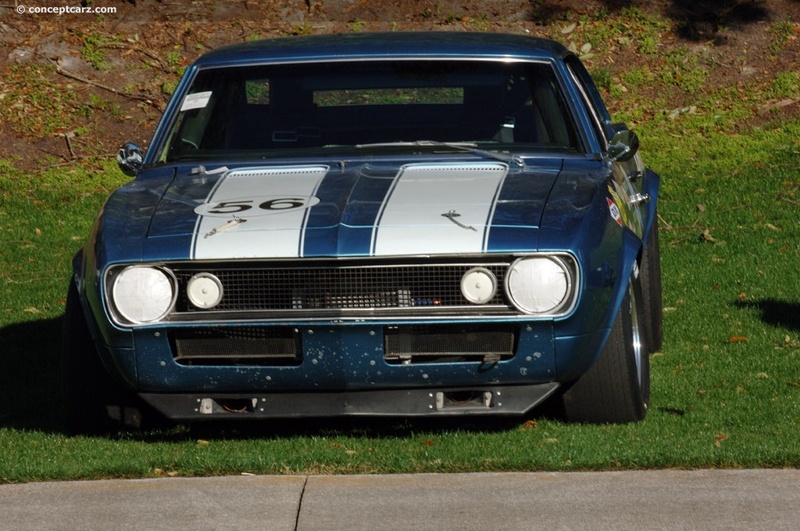 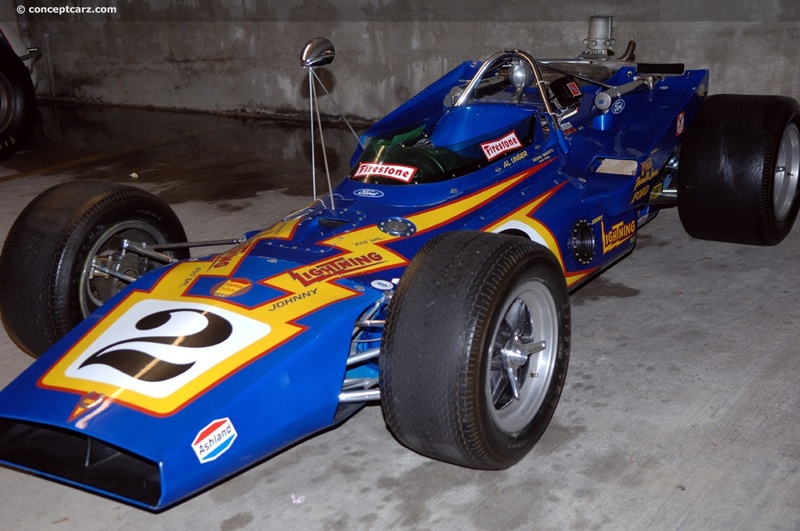 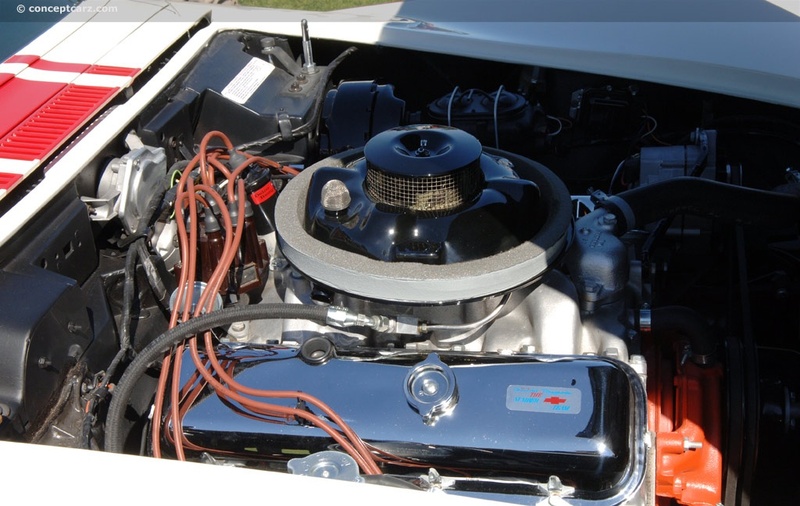 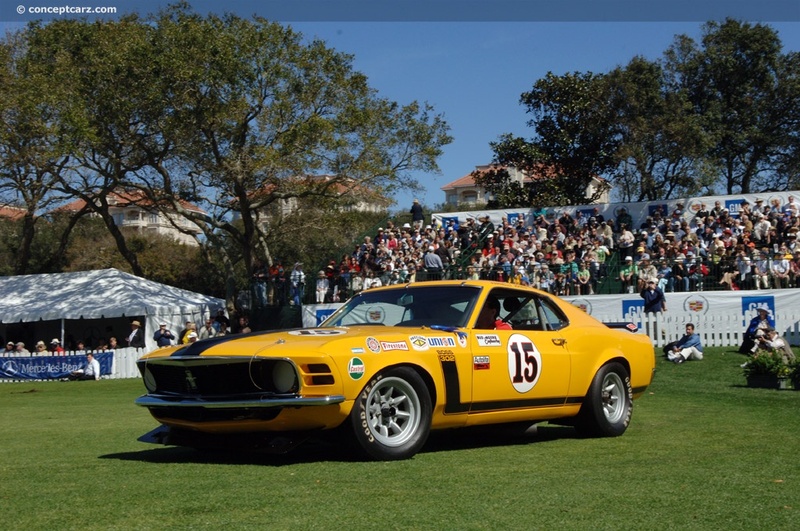 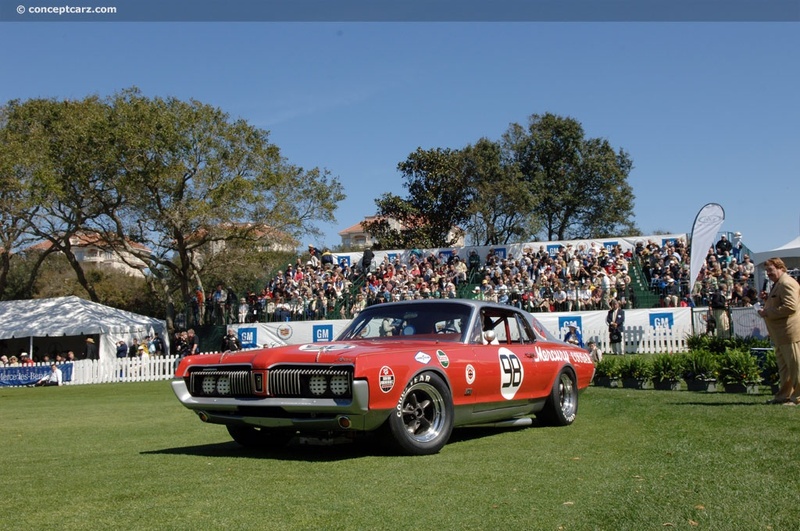 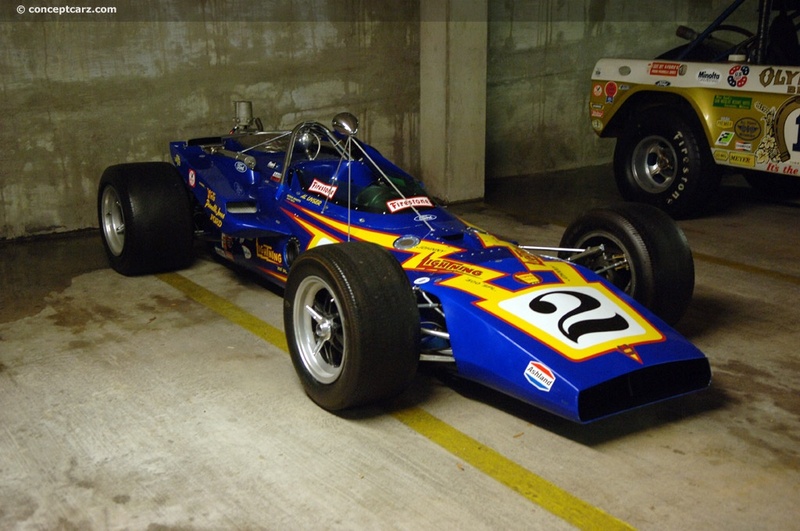 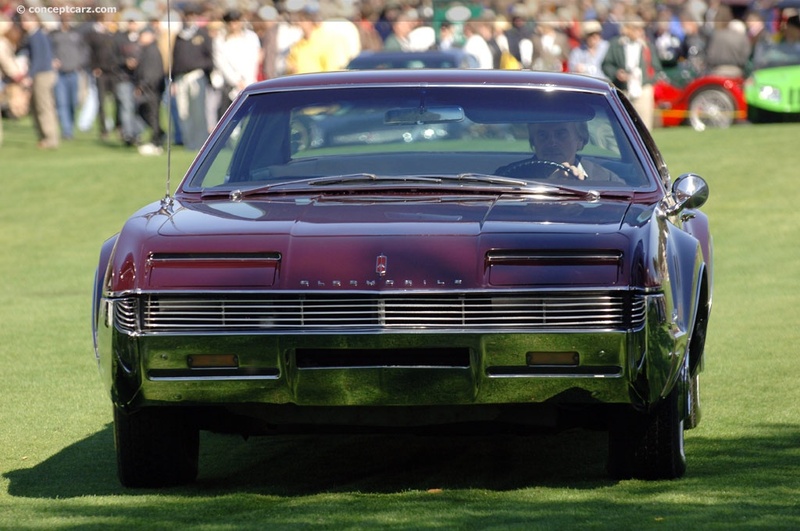 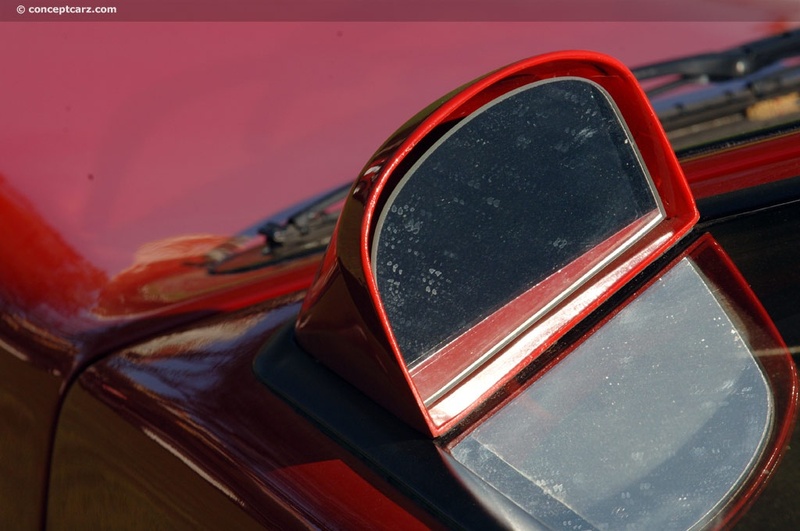 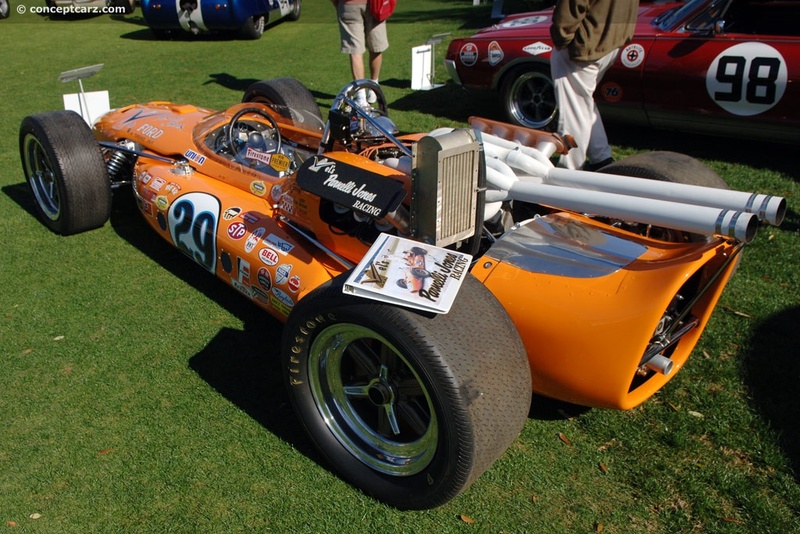 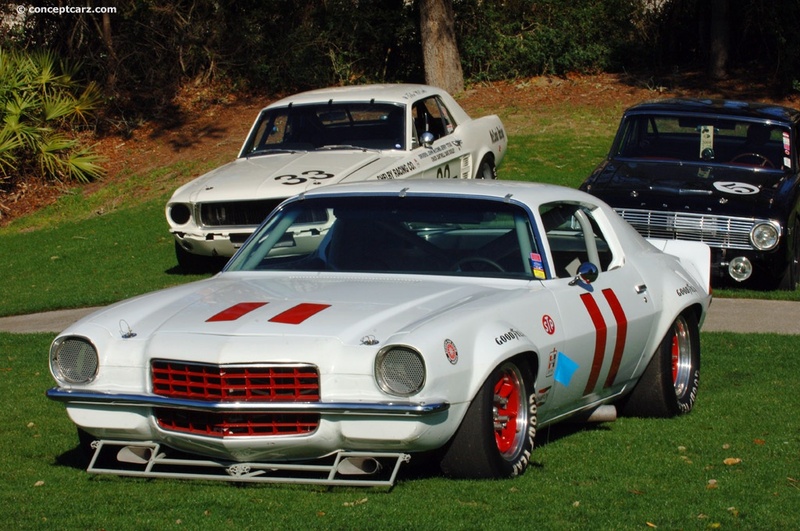 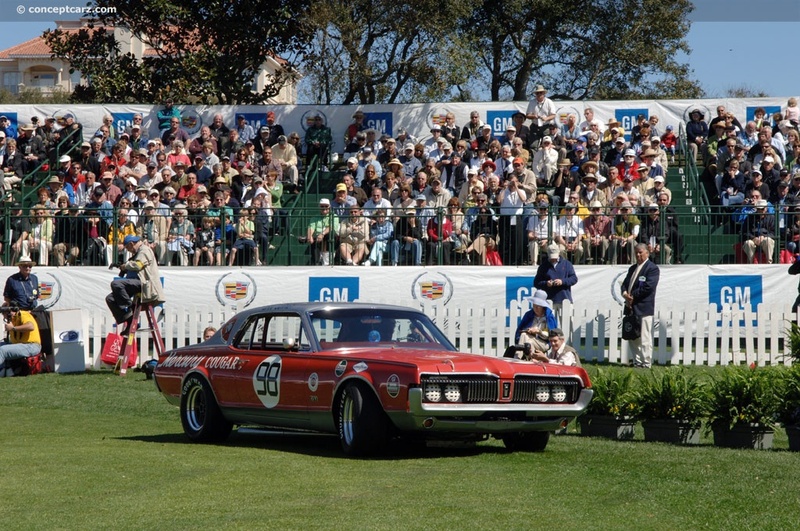 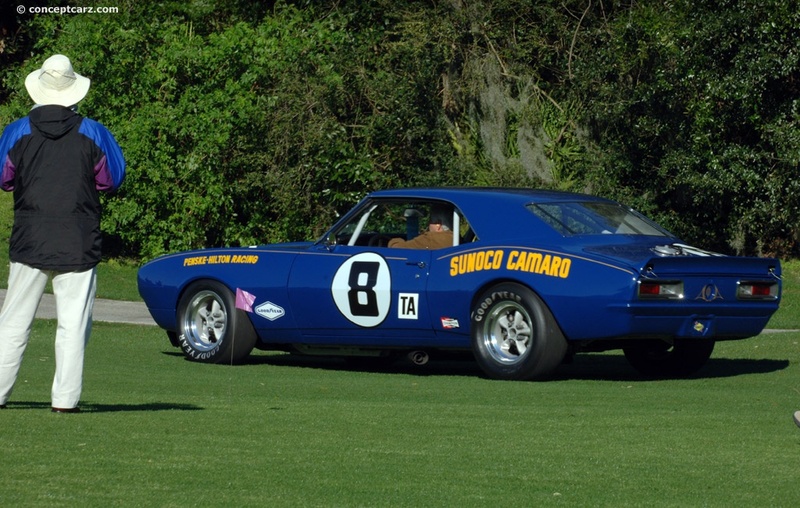 By the 1969 season, the TransAm Series attracted over 224,000 spectators to 13 events. 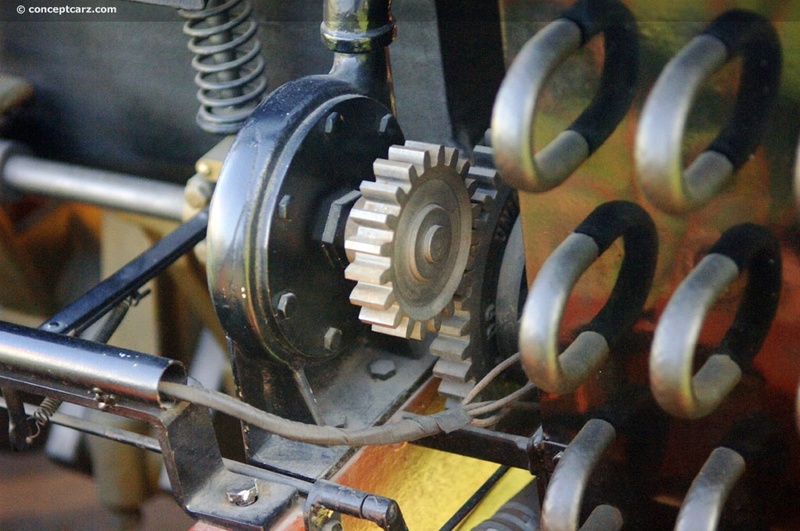 Factory support continued to increase and so did the competition. 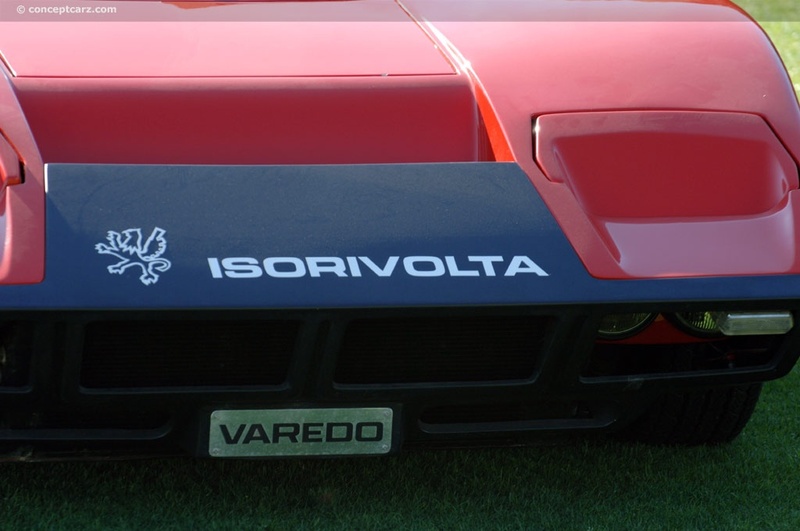 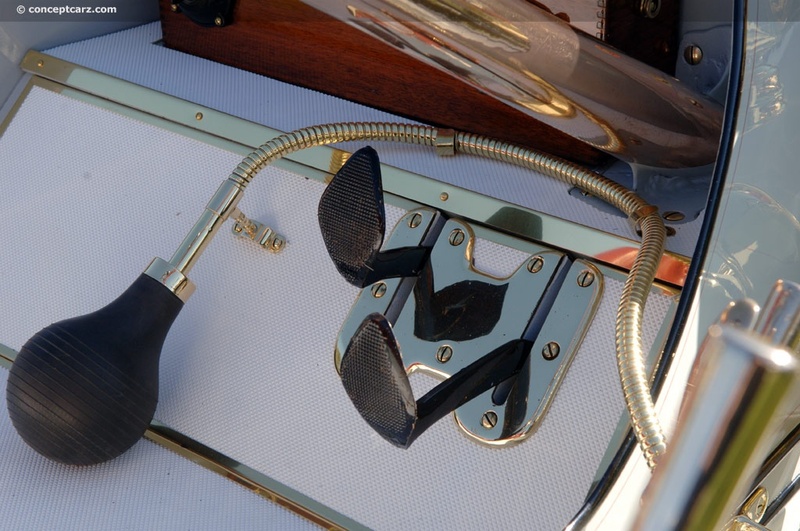 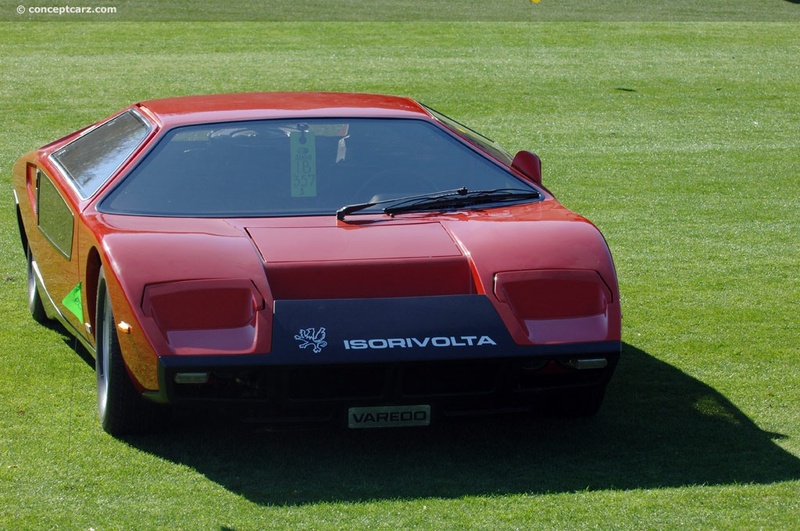 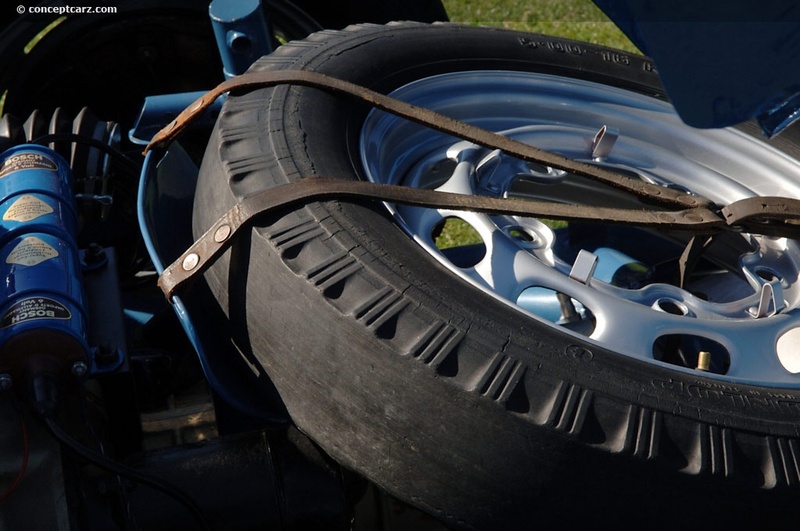 The sport prospered until the beginning of the 1970s, as new safety concerns, government regulations, an impending oil embargo, and expensive emissions were detrimental to the industry. 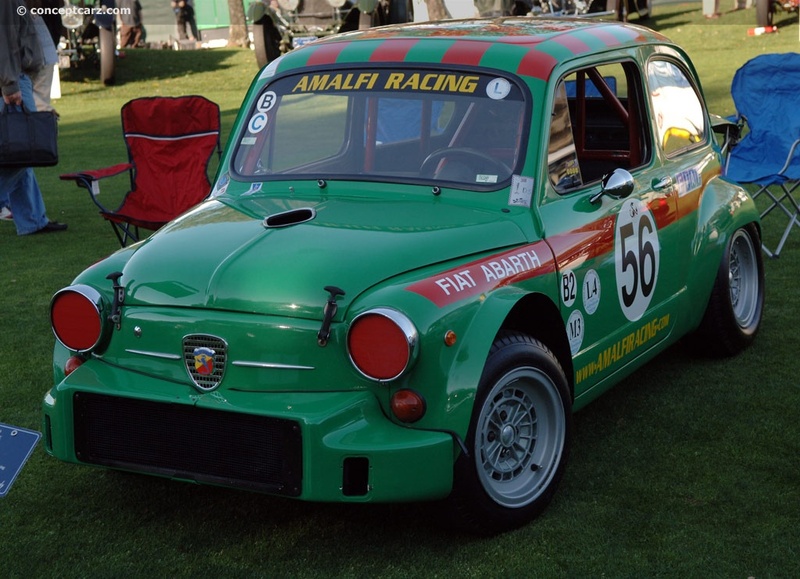 The cost to build a competitive racer increased significantly. 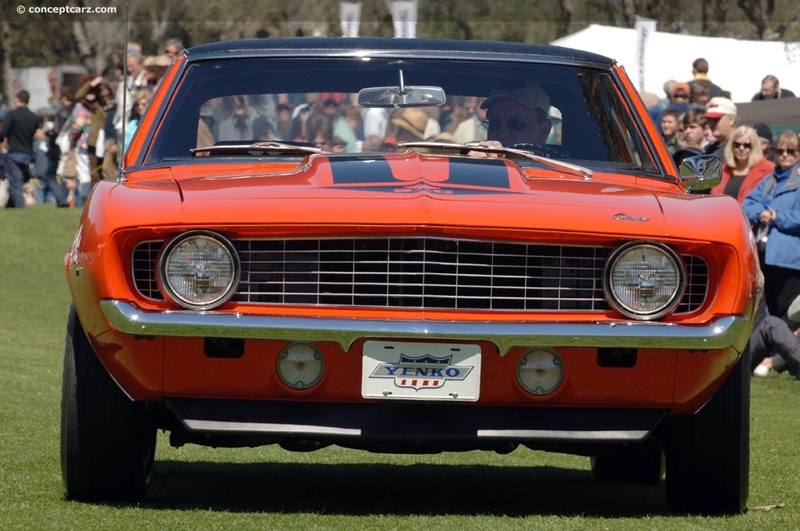 Most automakers backed out of competition, which meant a serious lack of resources and big name drivers. 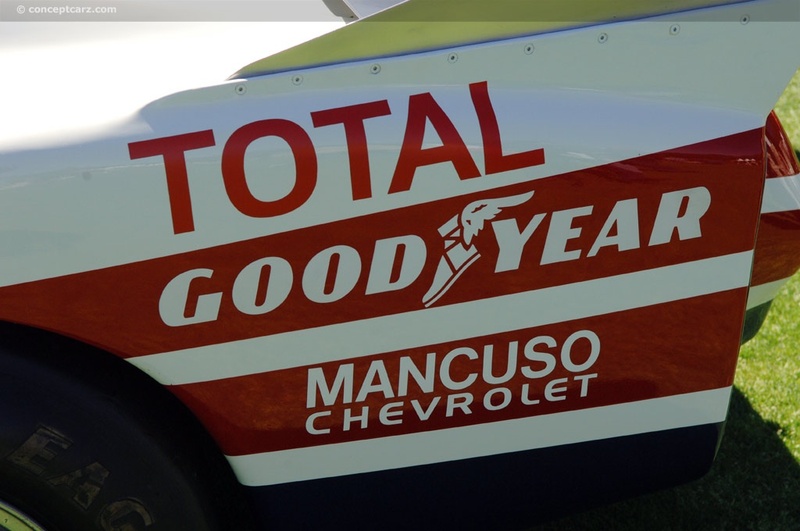 The glory years of the series were over. 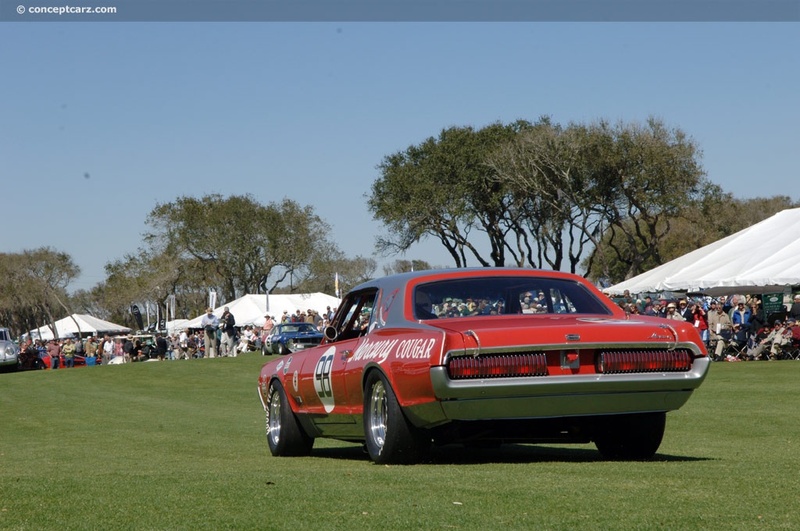 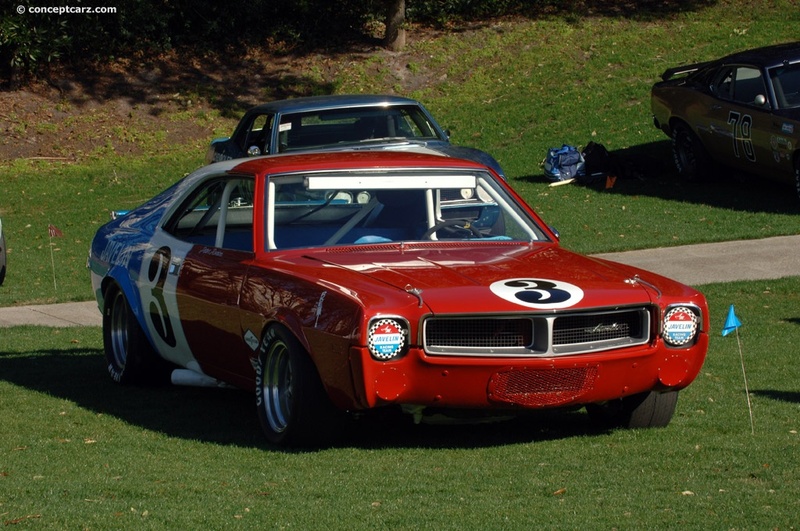 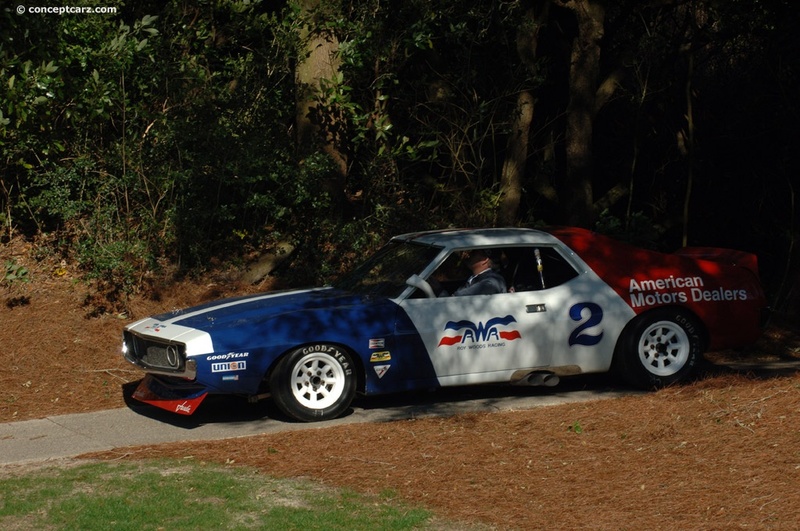 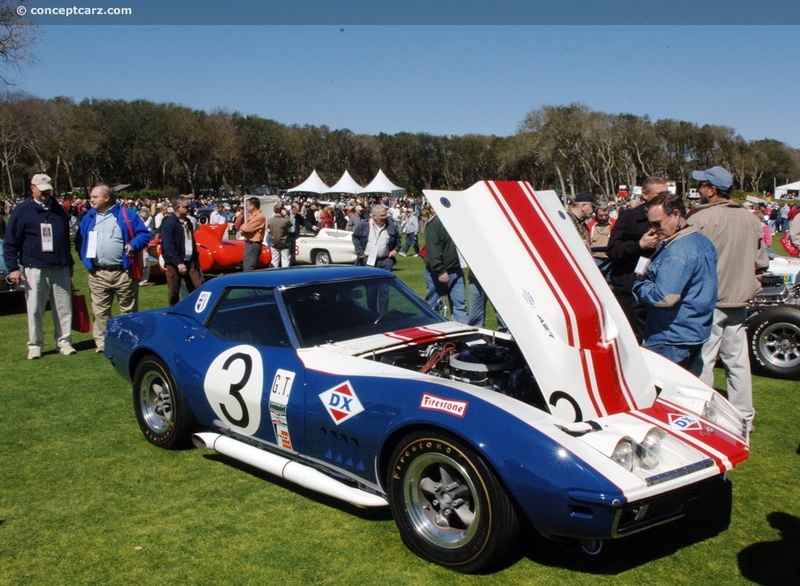 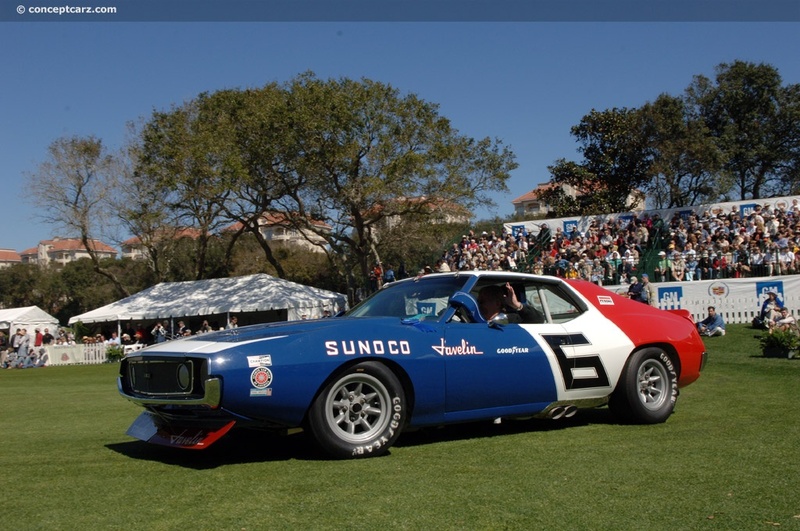 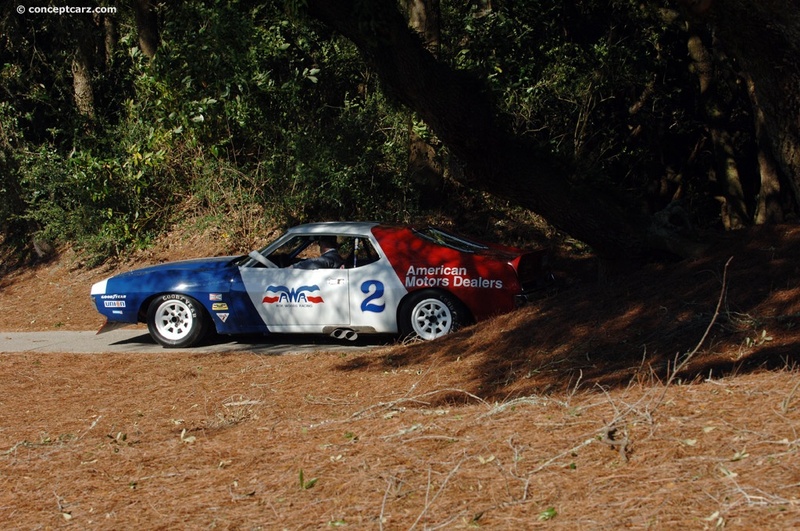 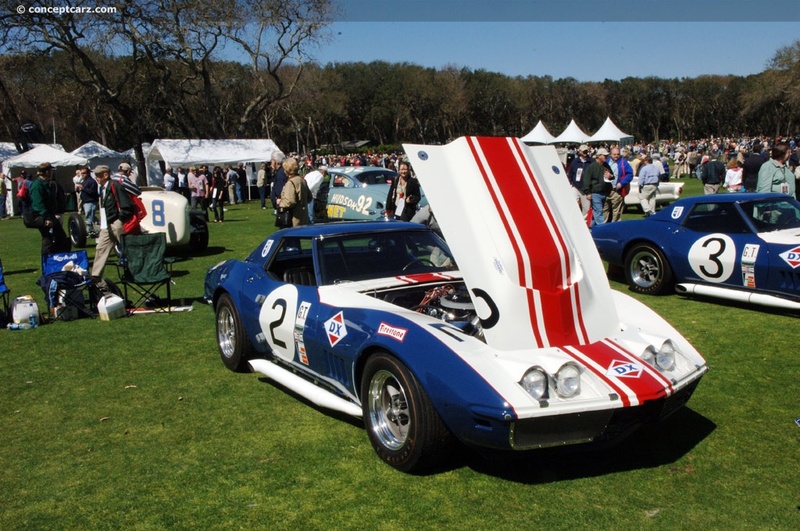 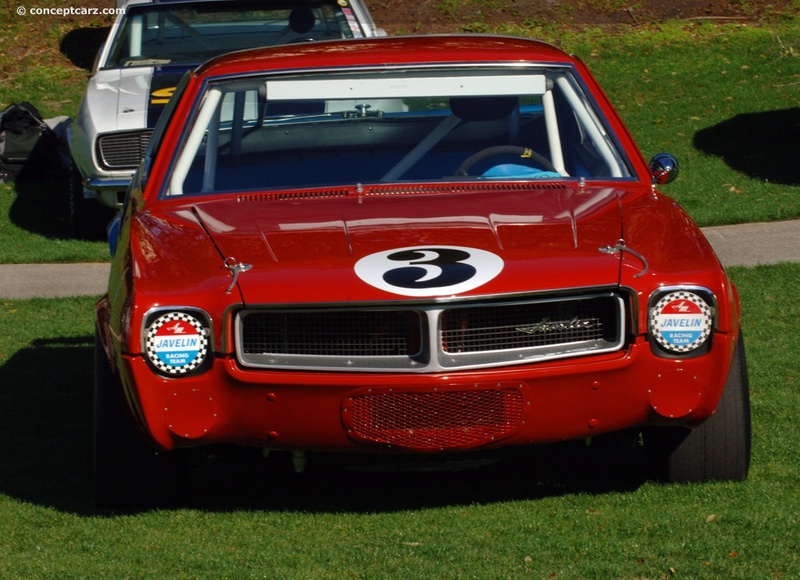 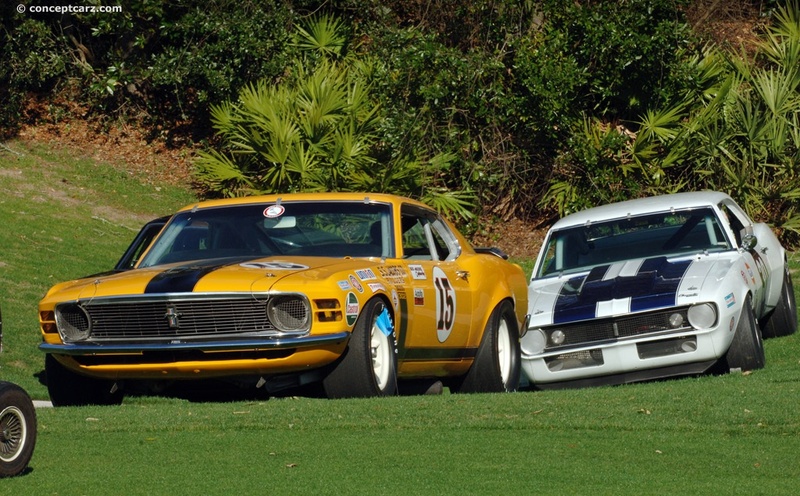 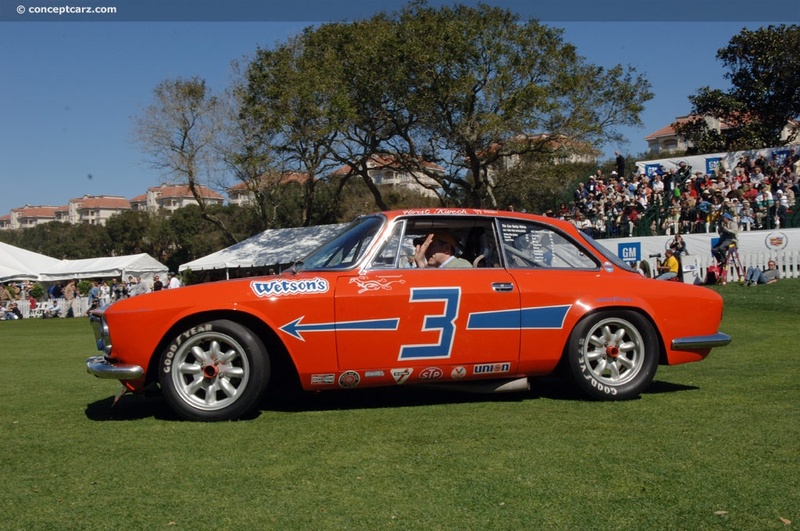 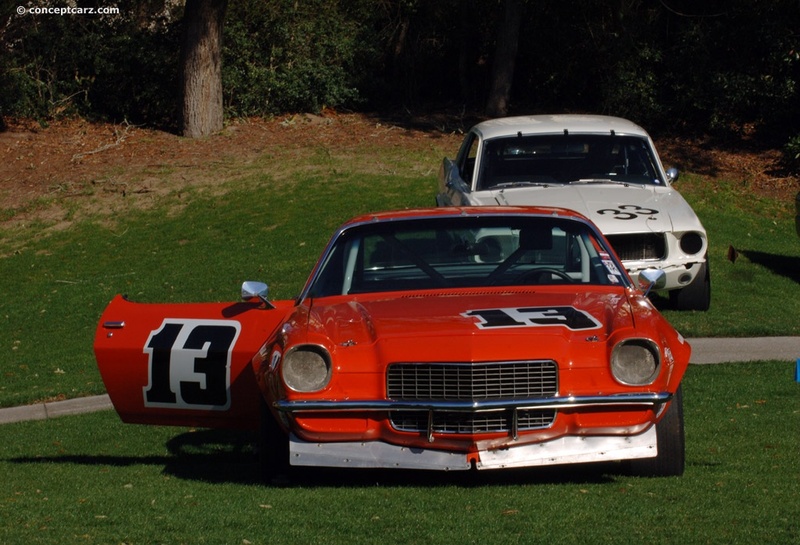 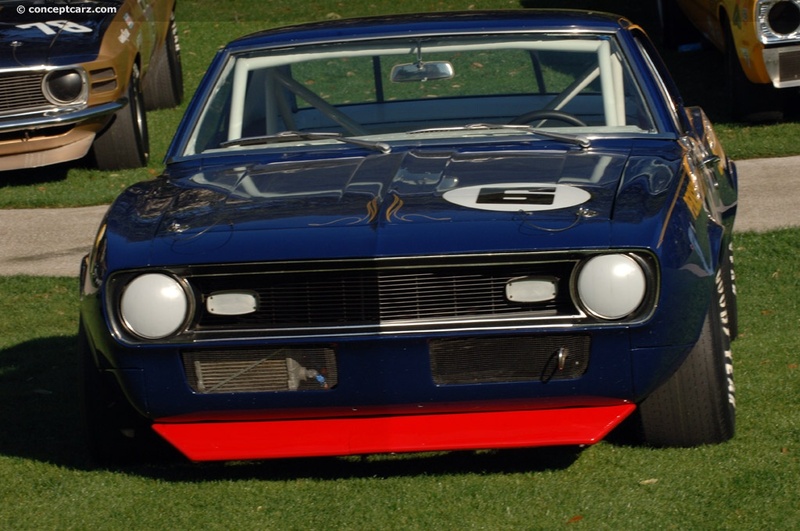 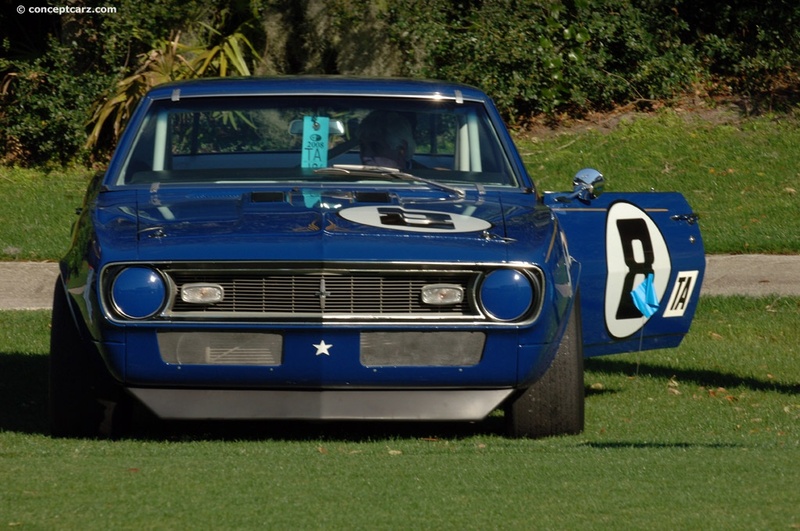 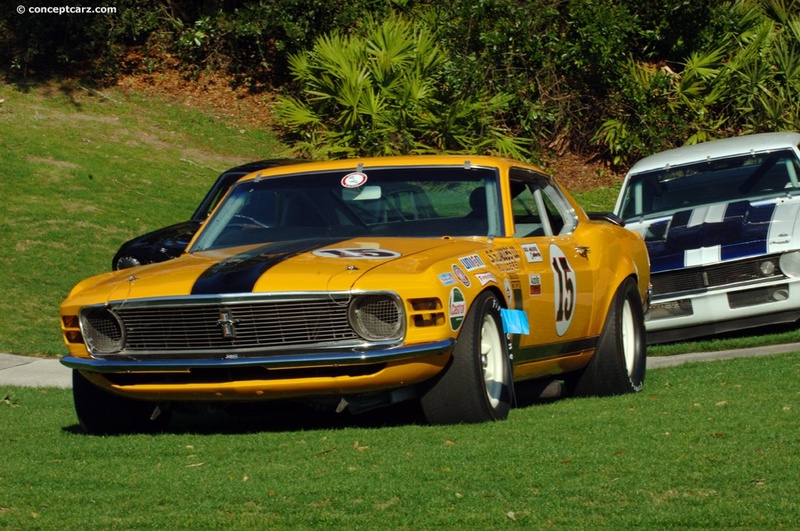 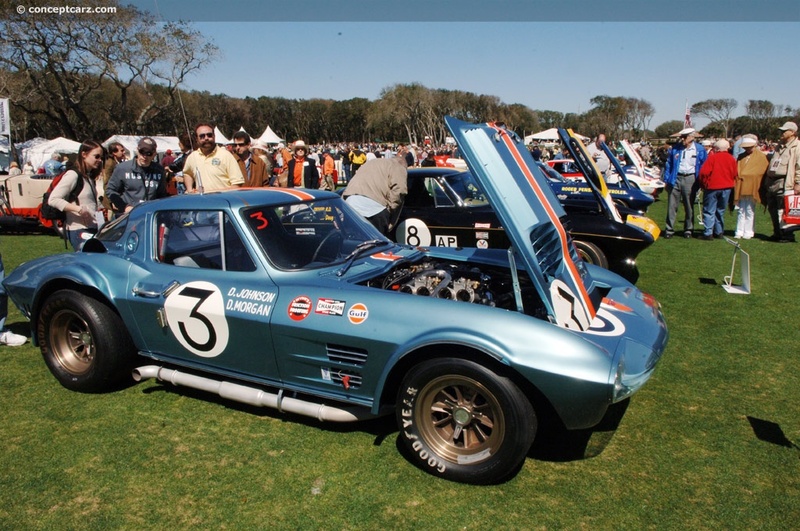 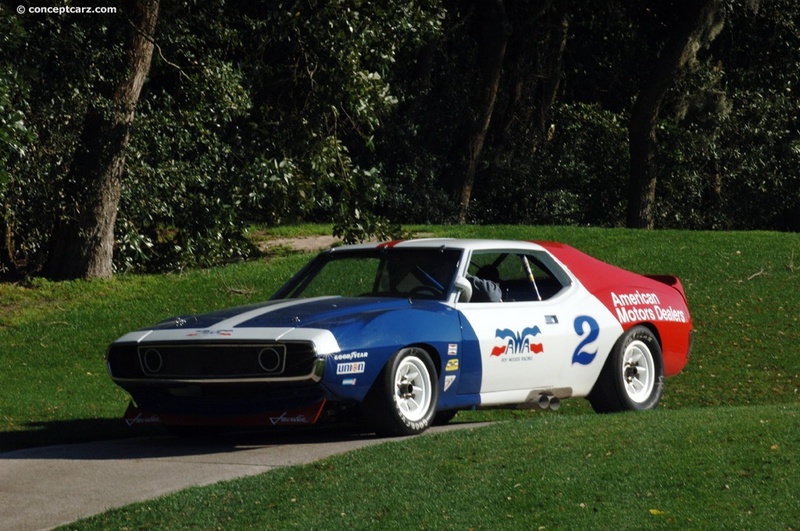 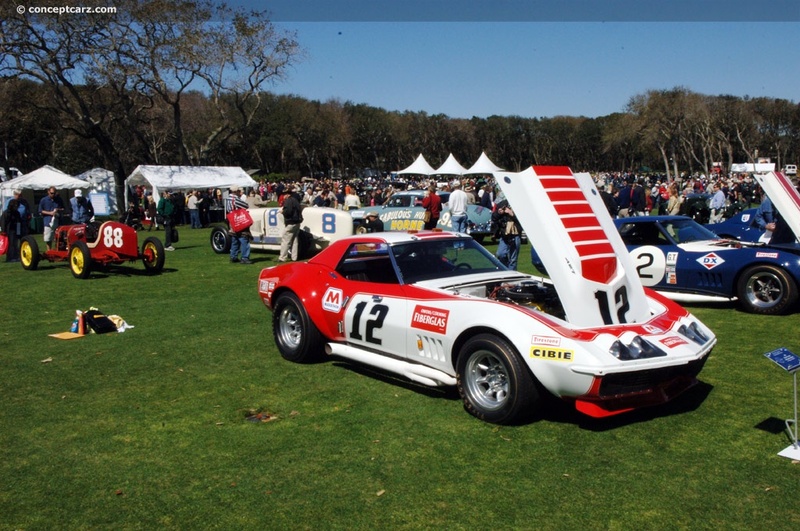 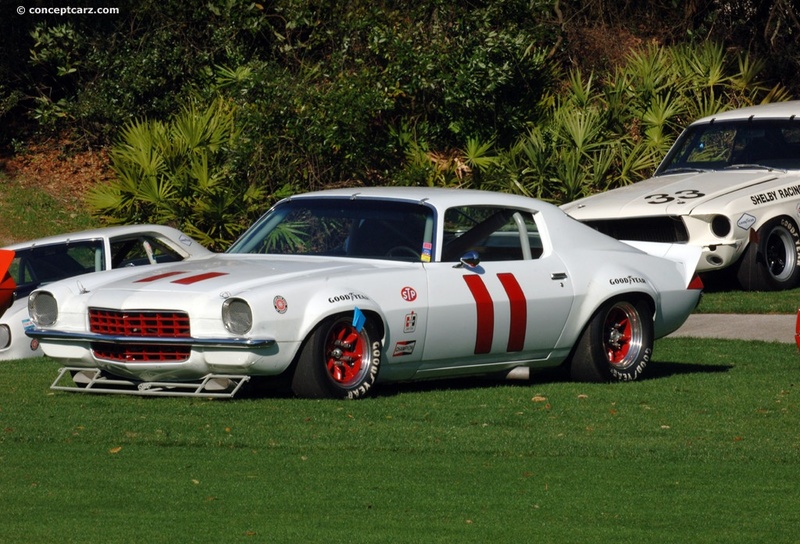 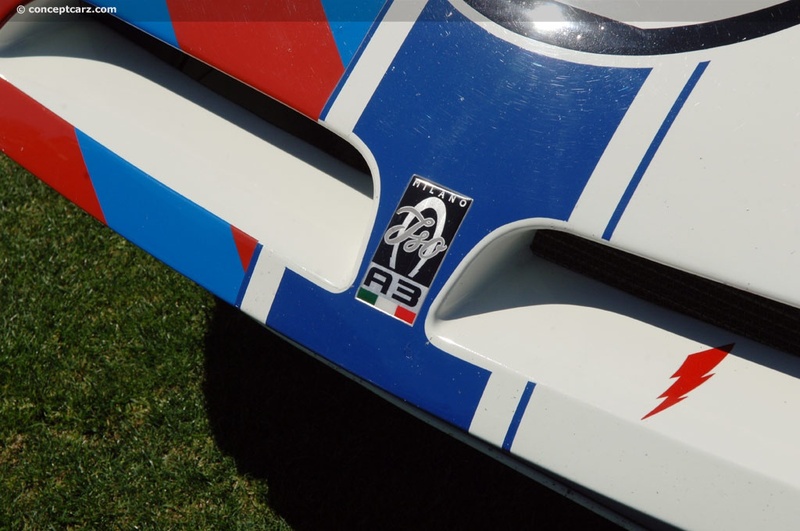 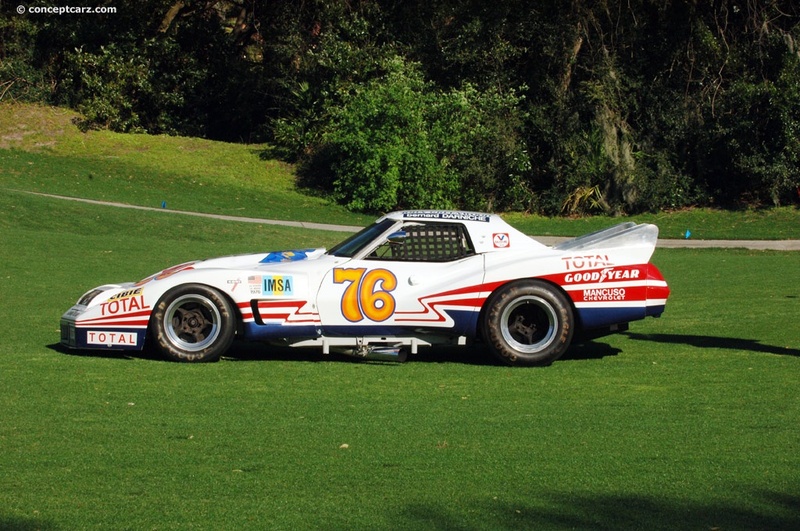 The Amelia Island Concours had Trans Am racers driven by Parnelli Jones, with an additional three or four dozen other examples. 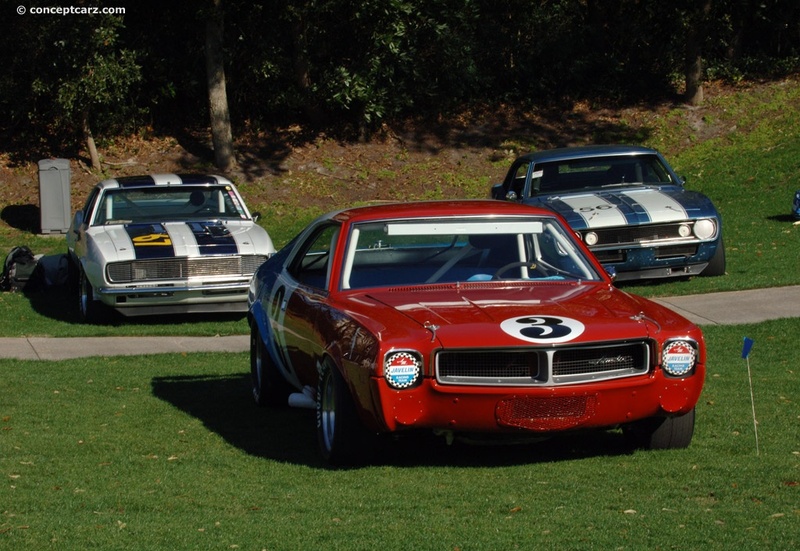 Camaros, Ford and Shelby Mustangs, Falcons, Javelins, and even Cuda's were on display. 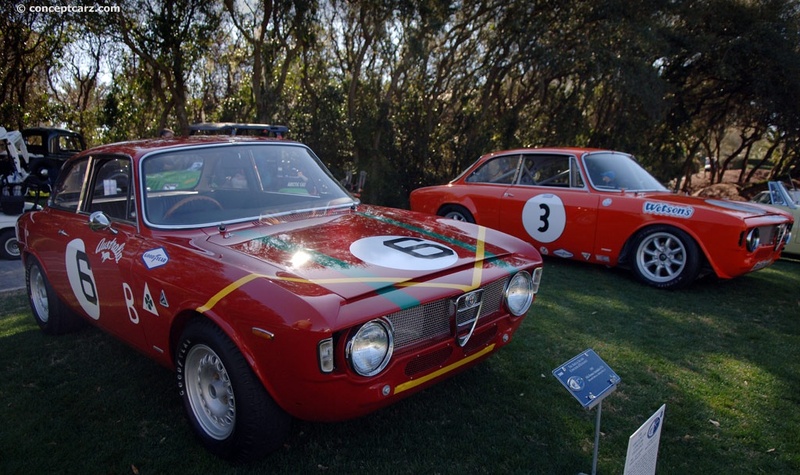 ‘Plenty to see and admire. 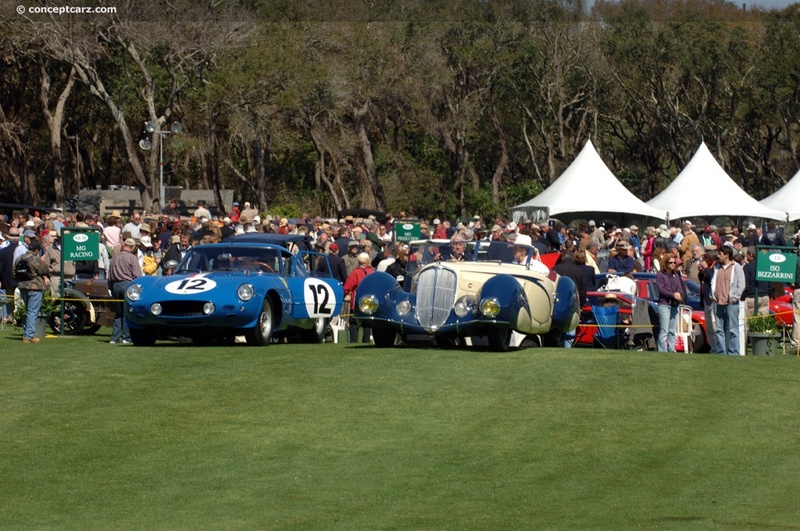 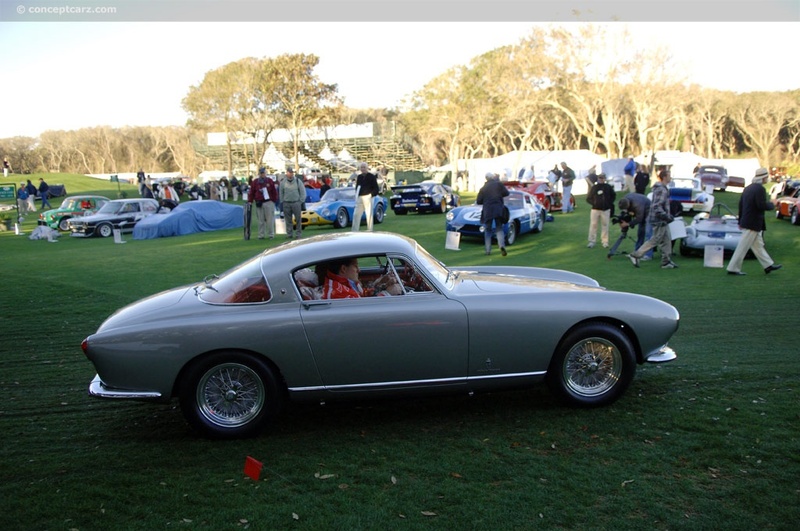 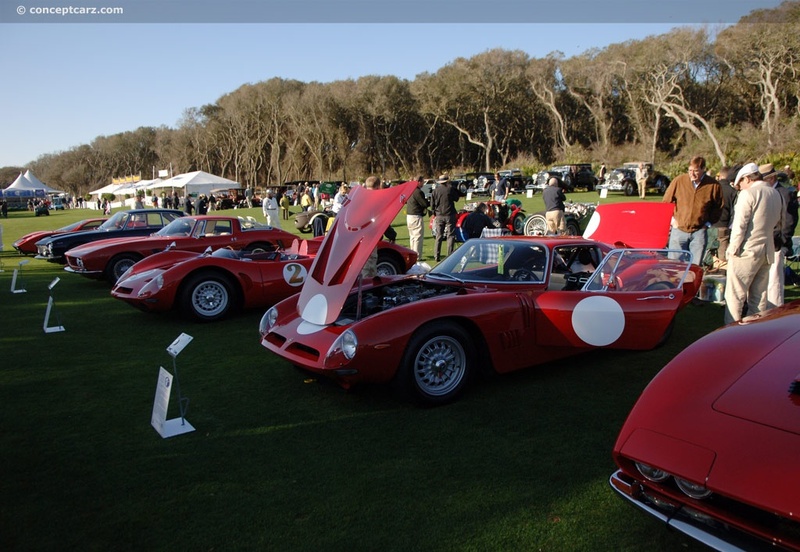 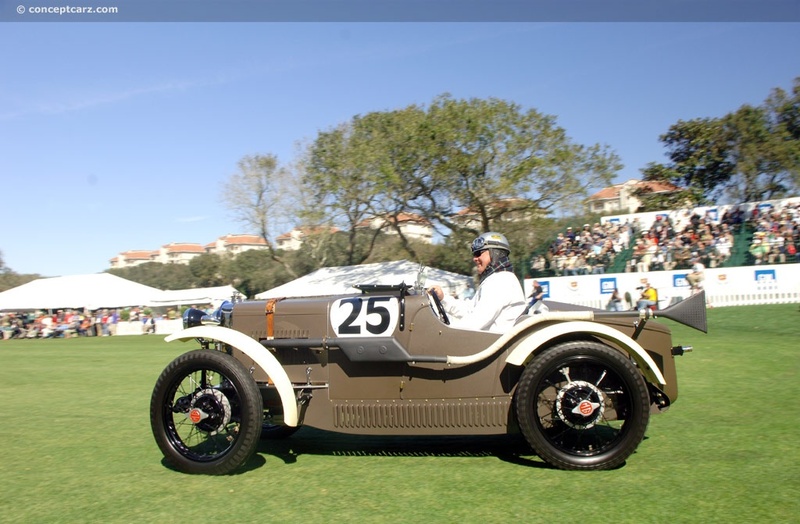 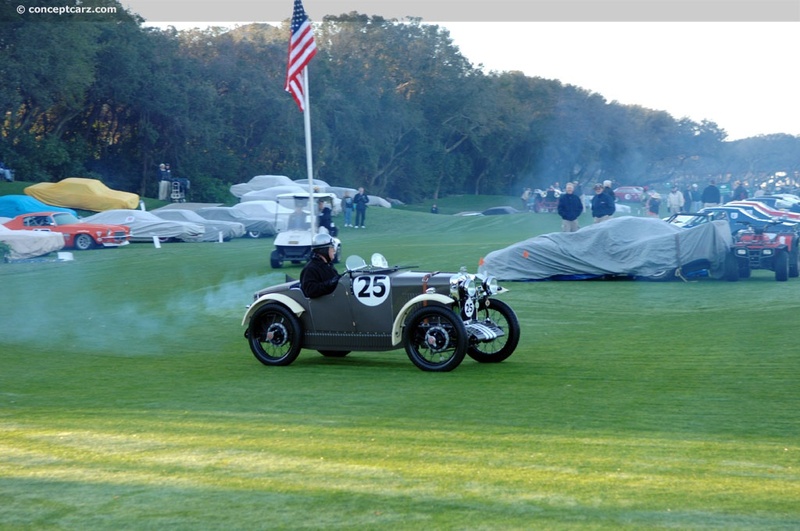 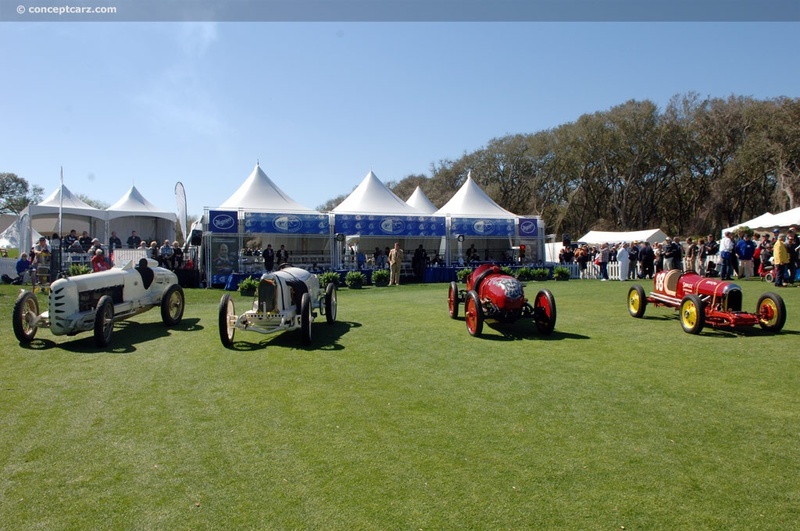 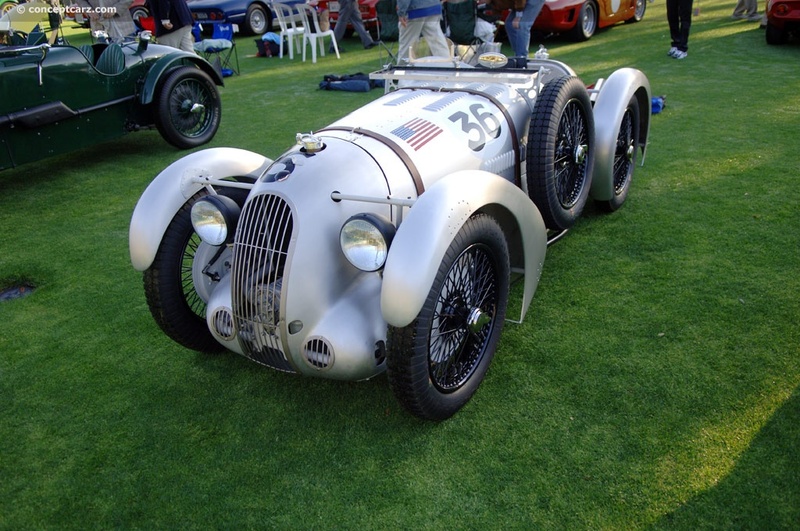 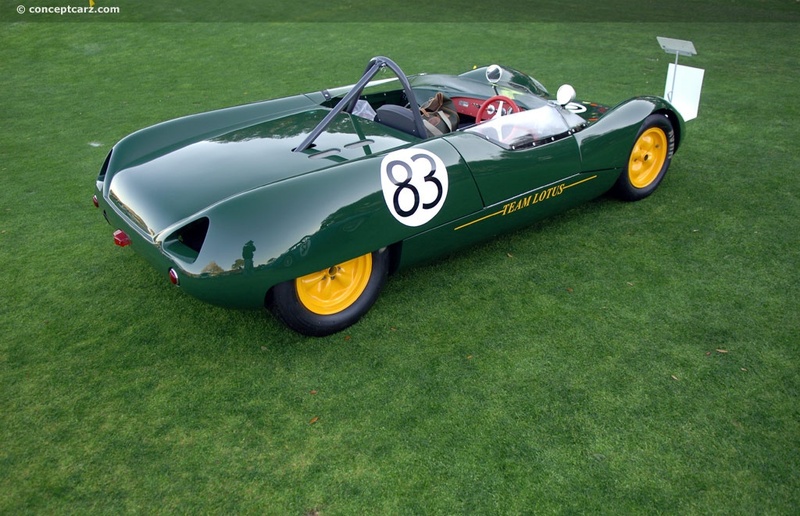 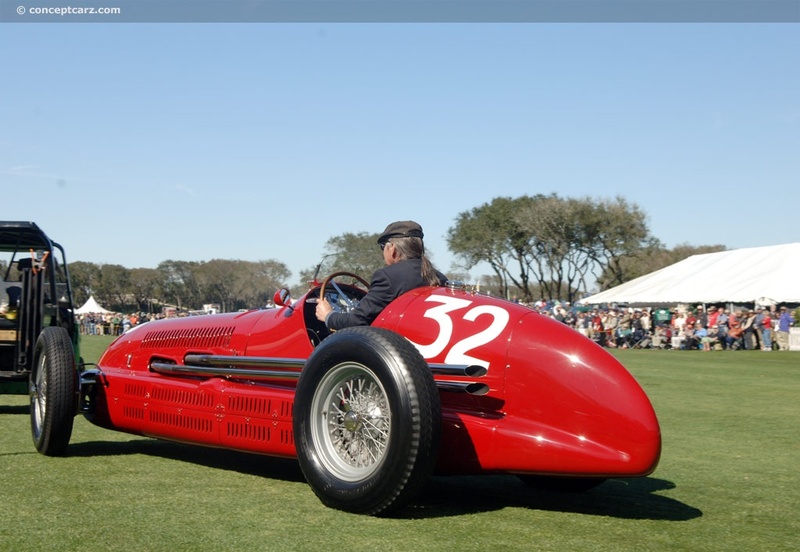 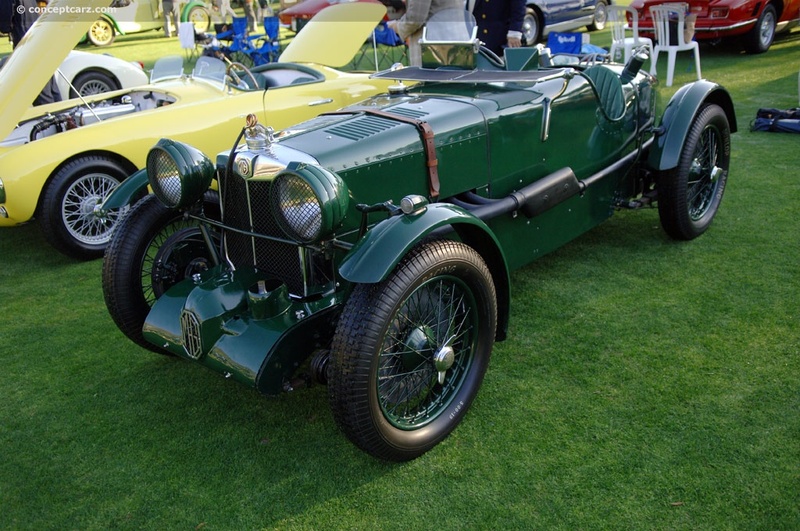 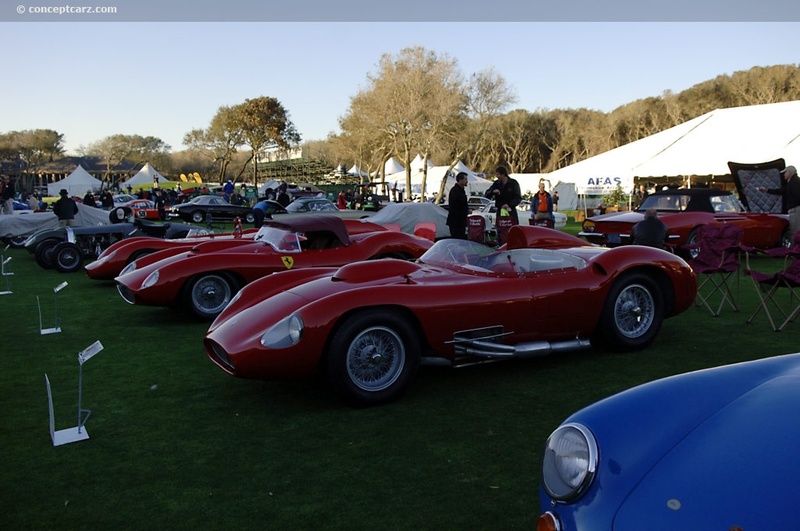 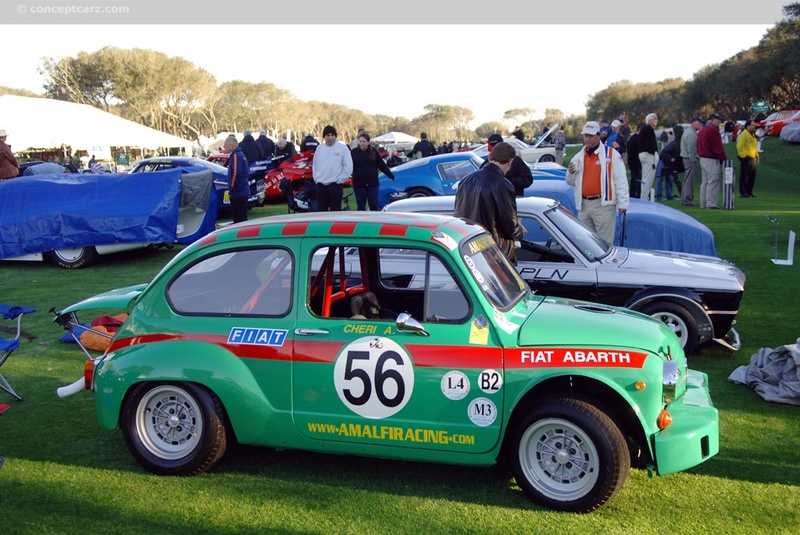 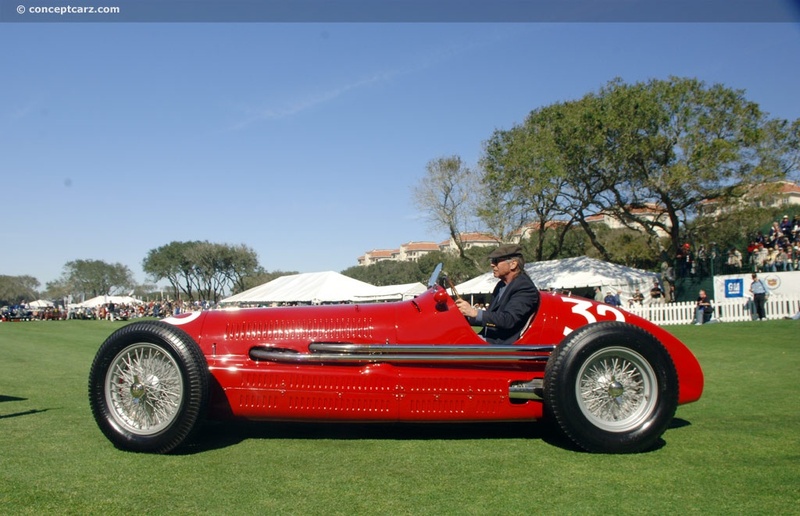 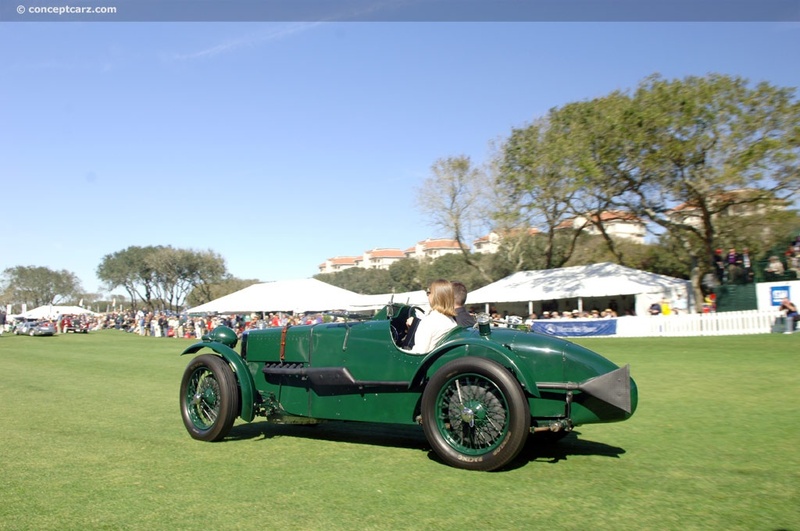 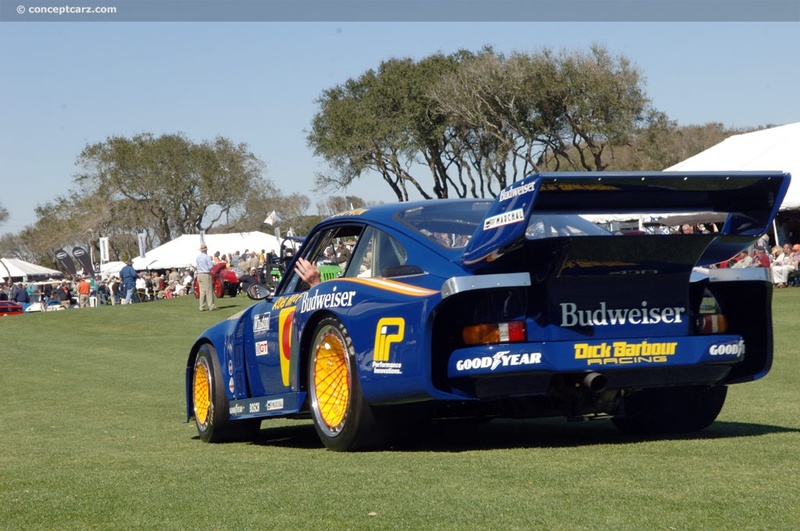 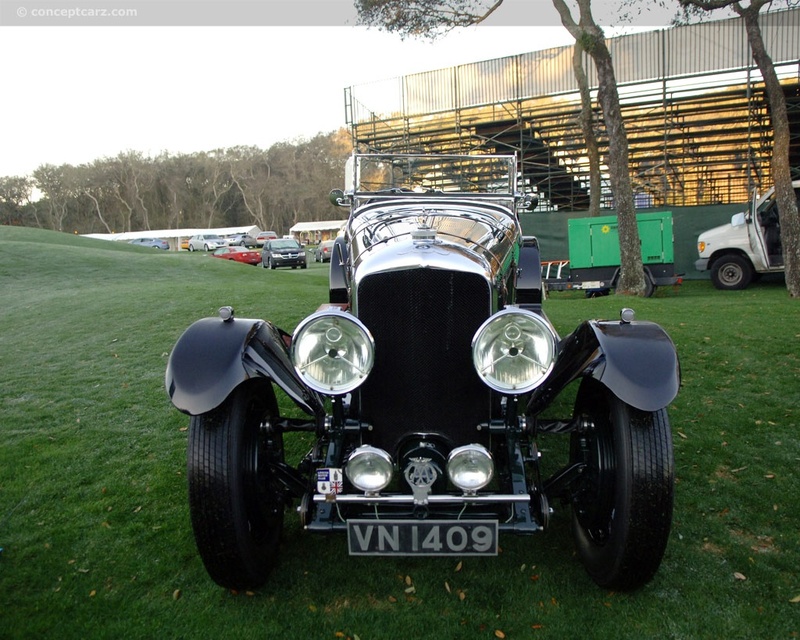 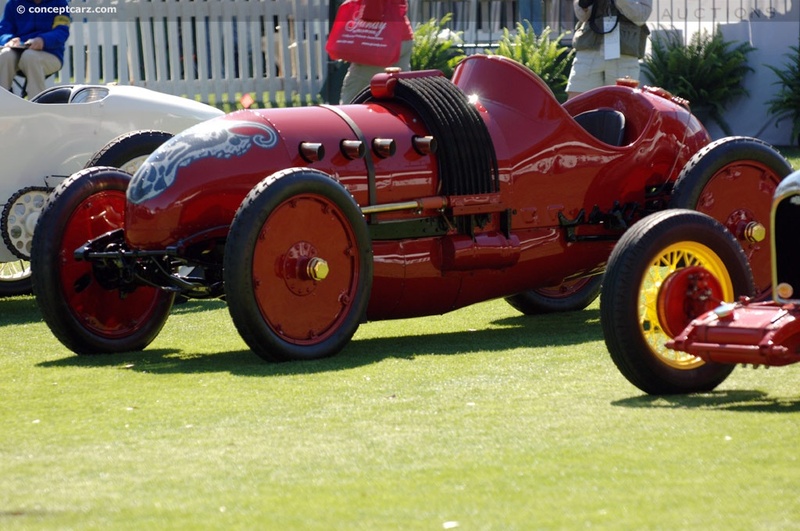 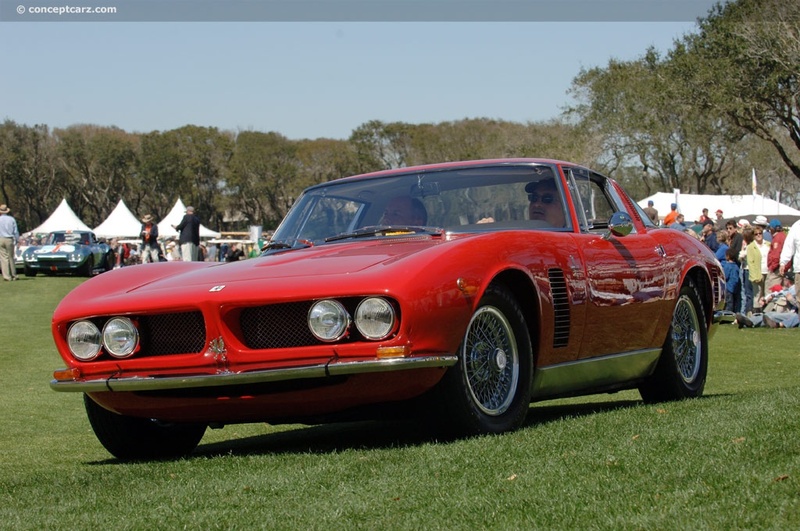 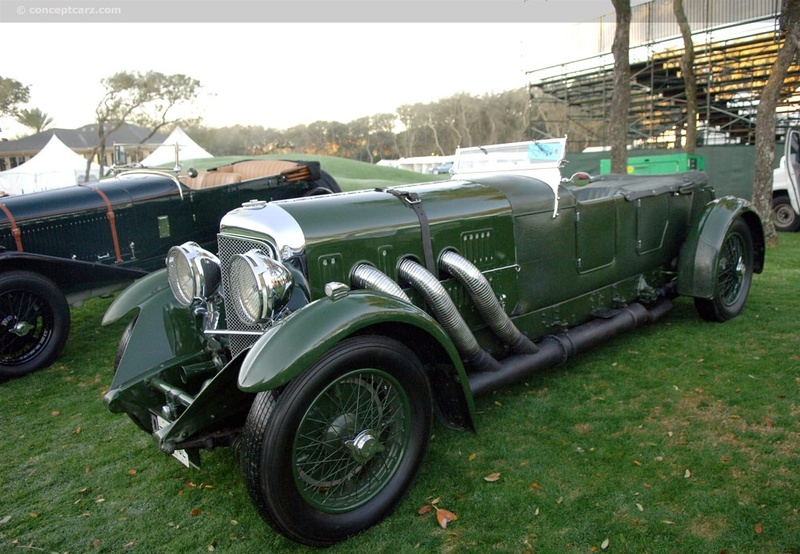 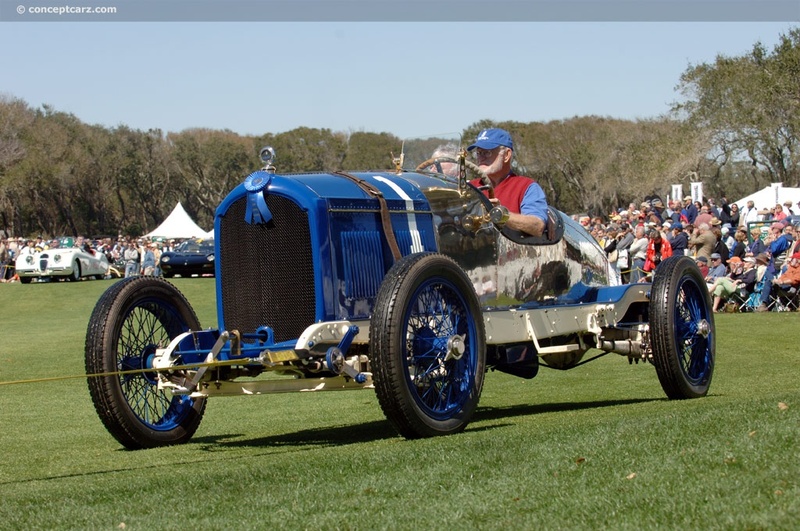 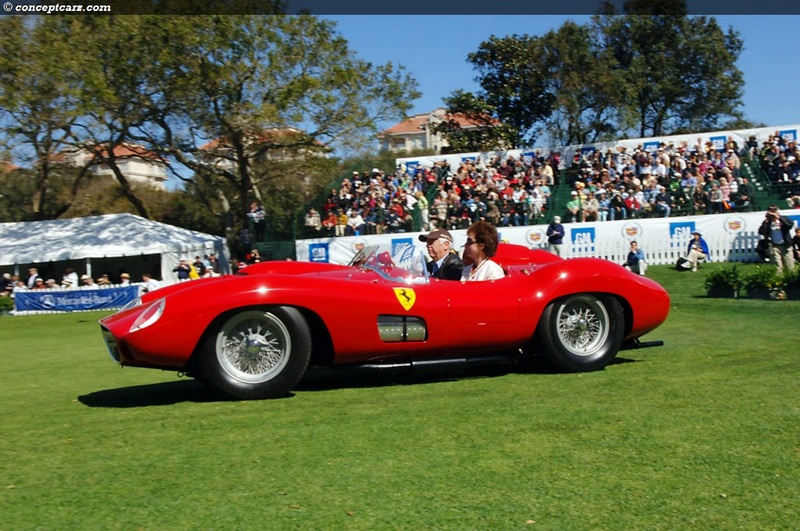 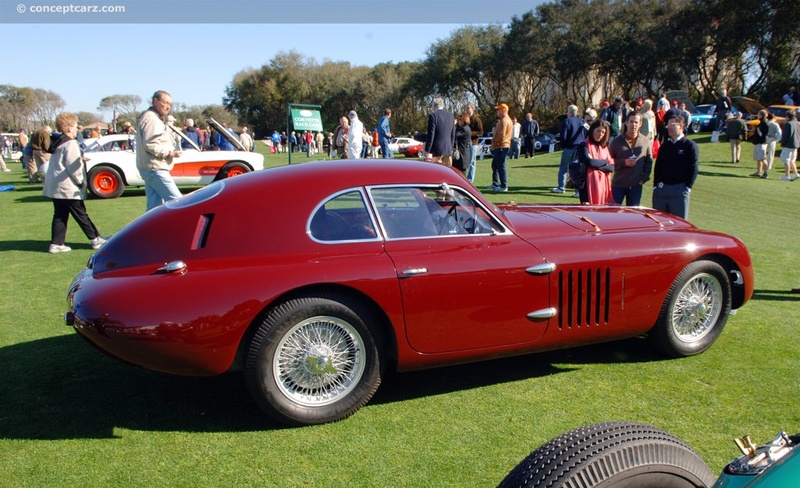 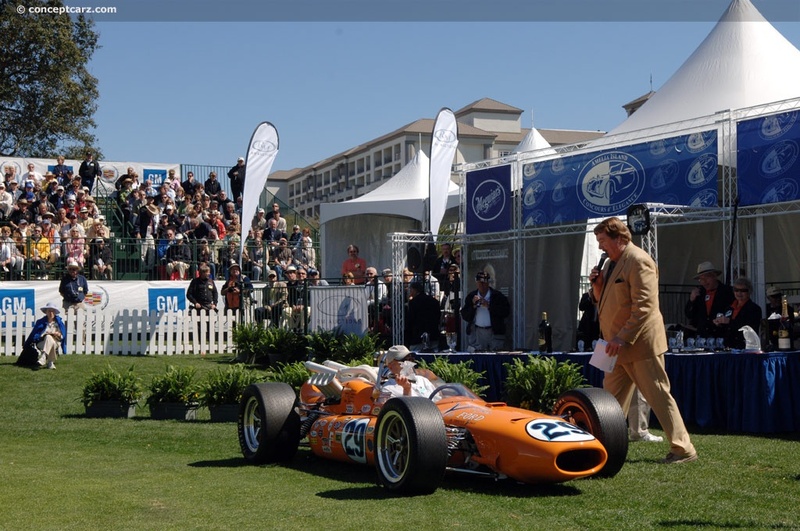 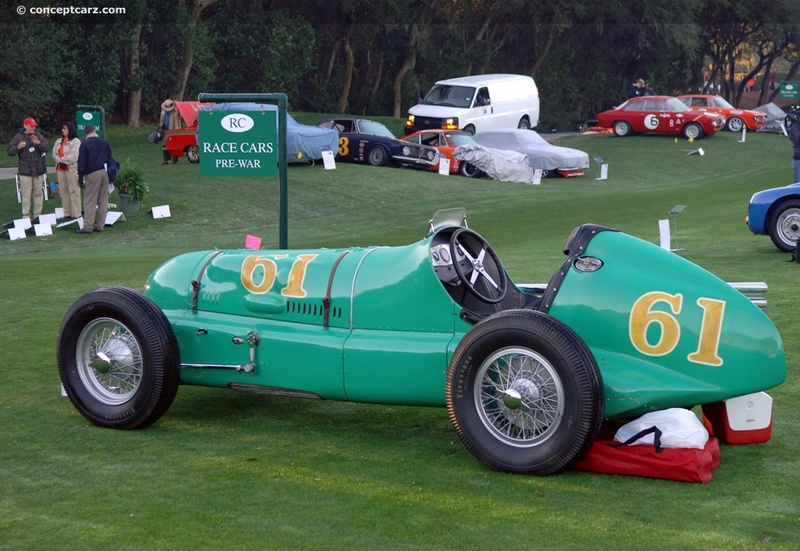 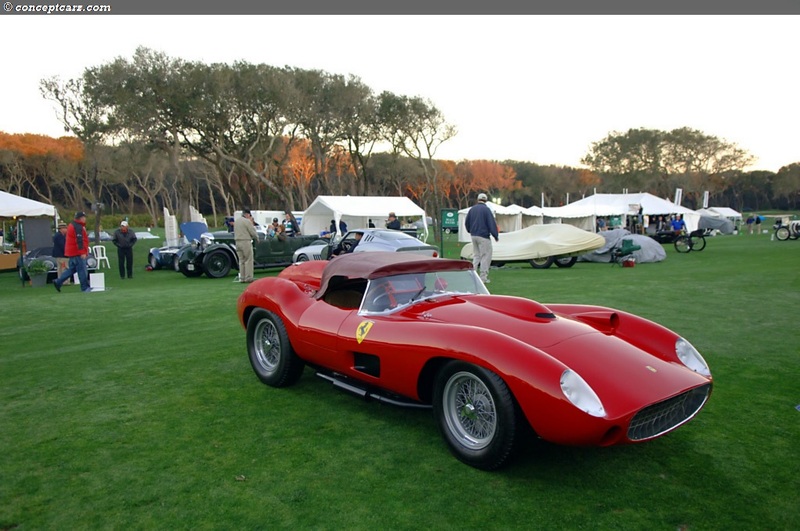 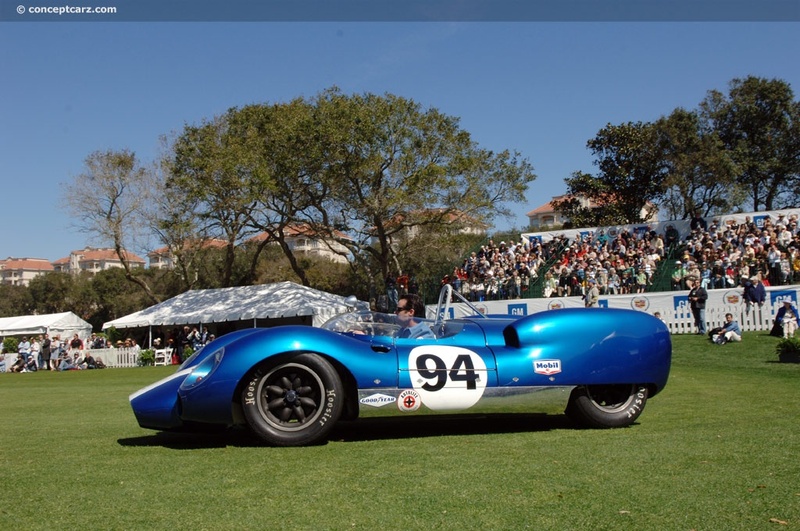 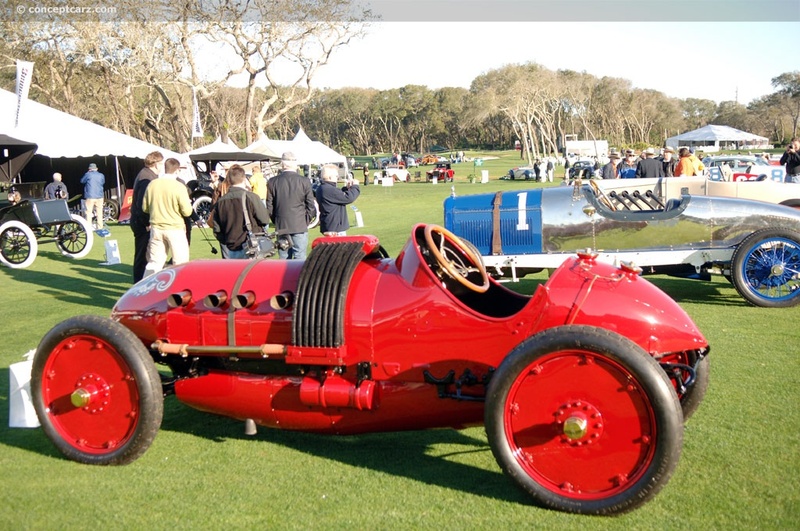 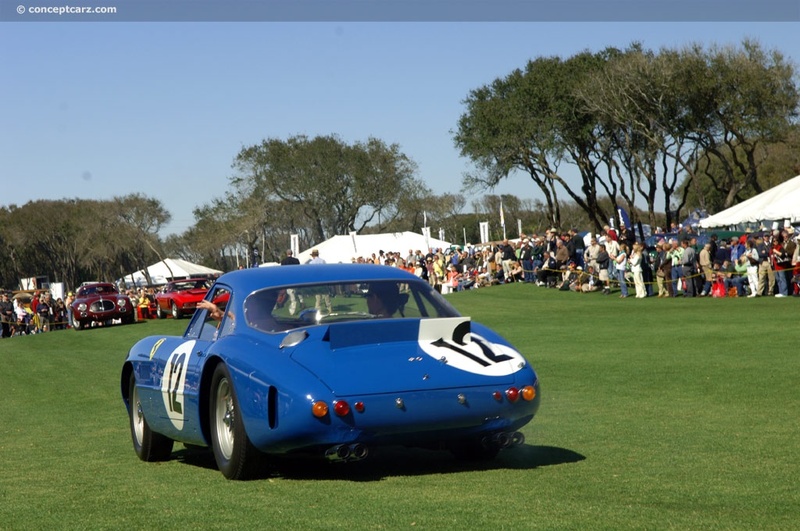 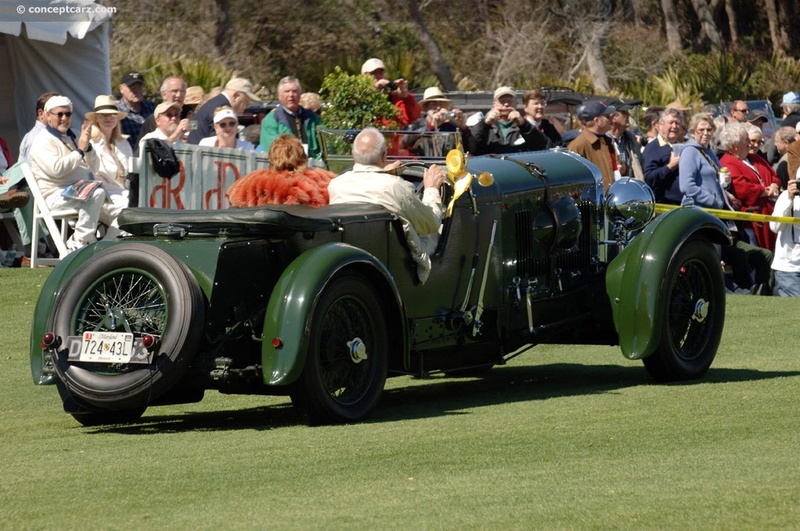 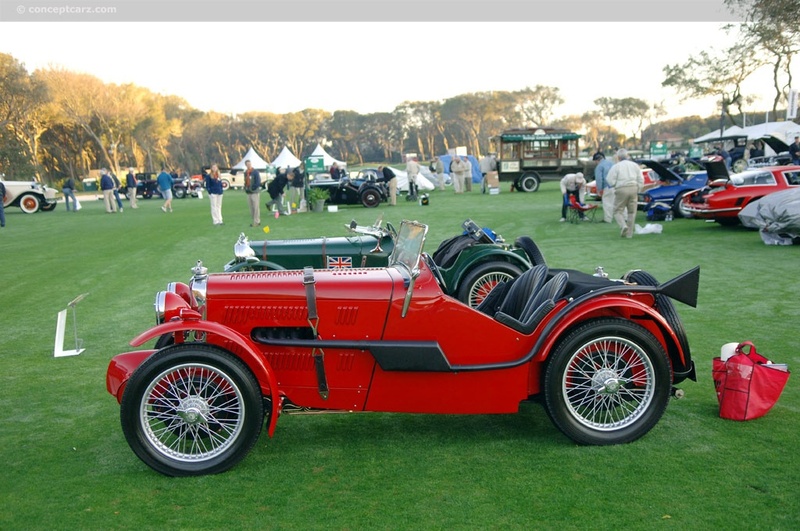 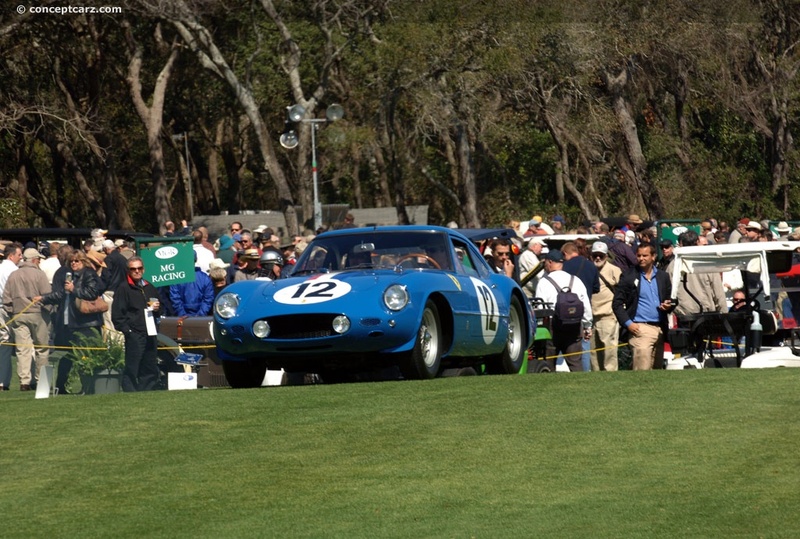 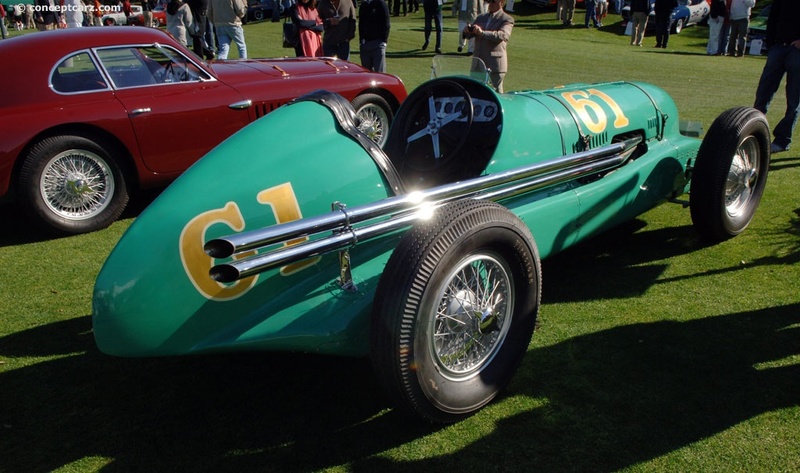 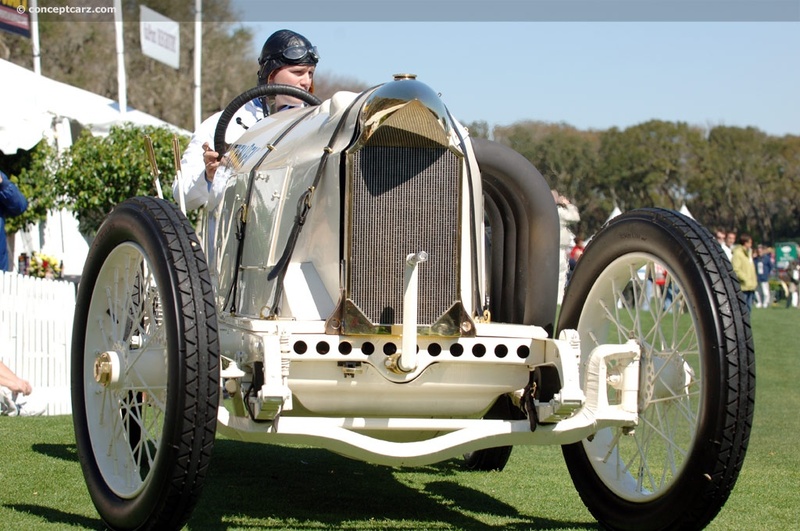 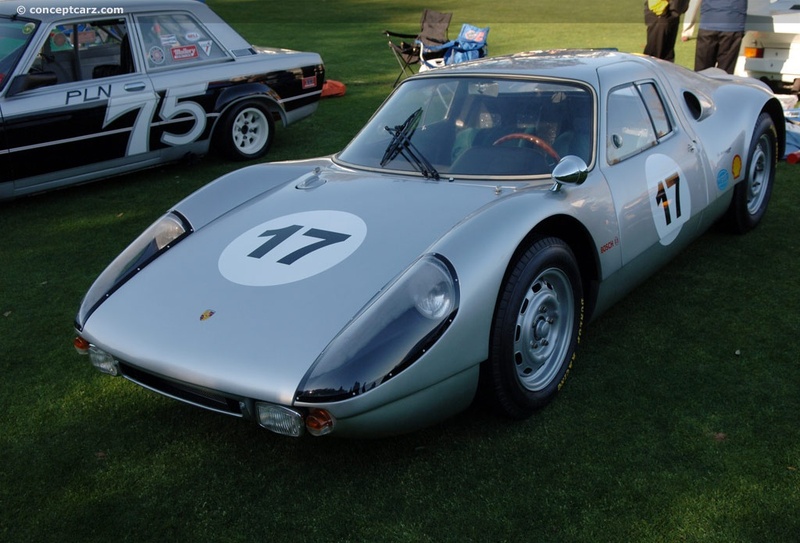 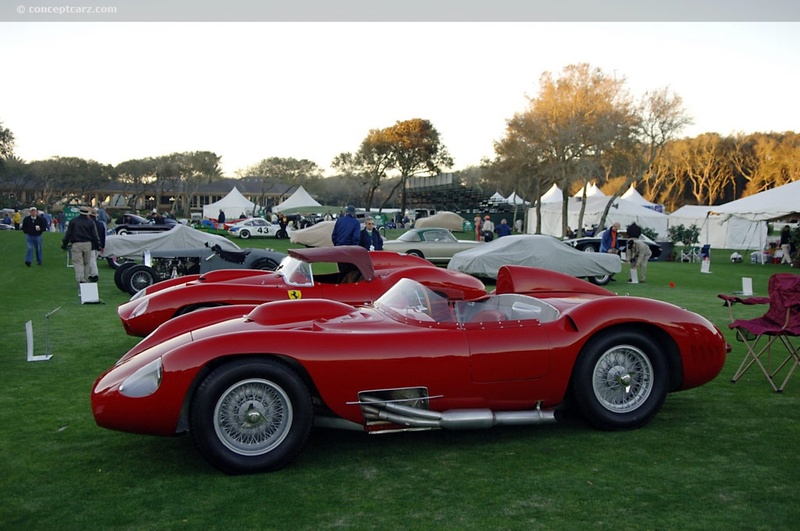 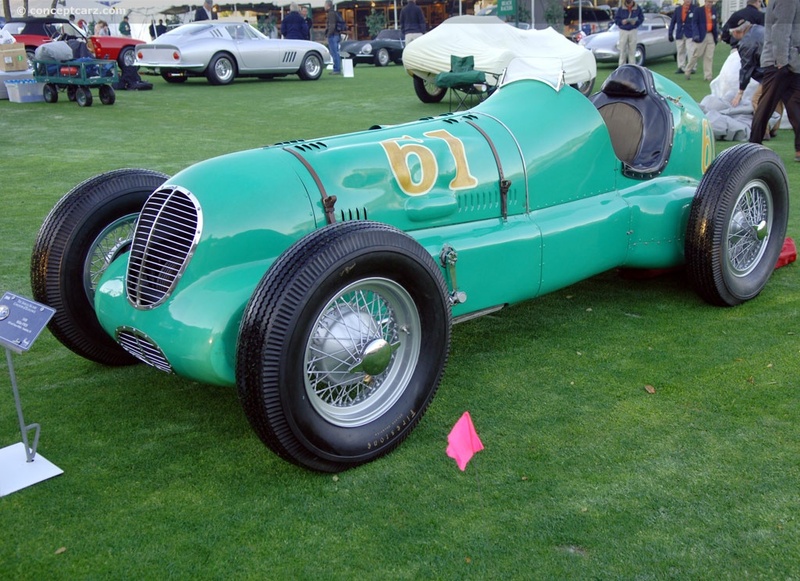 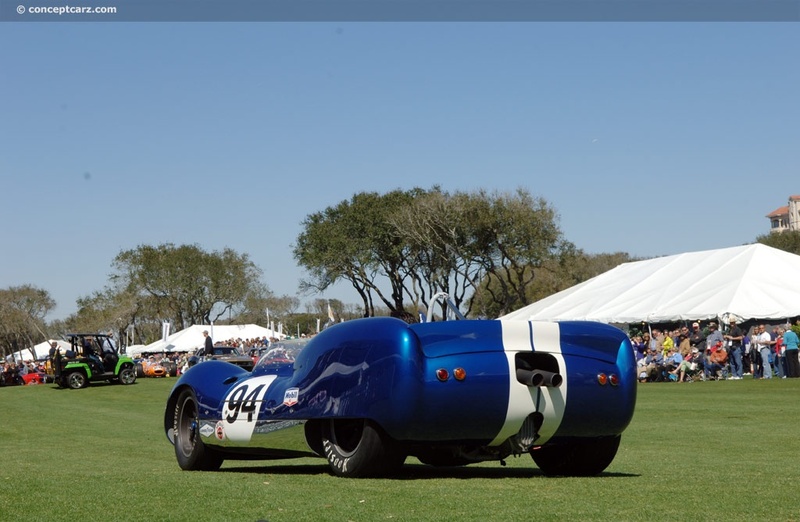 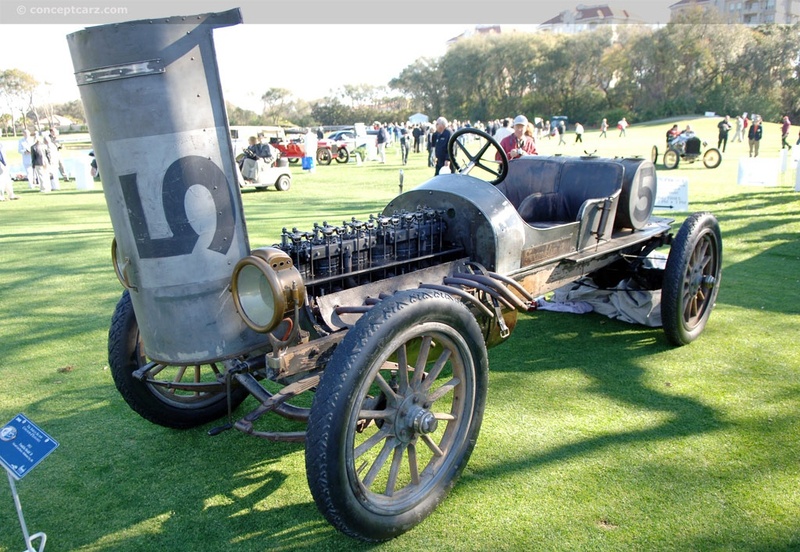 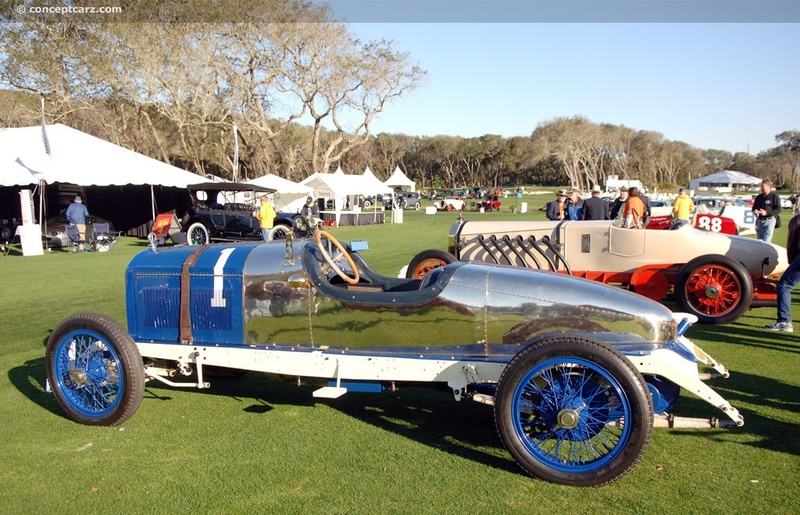 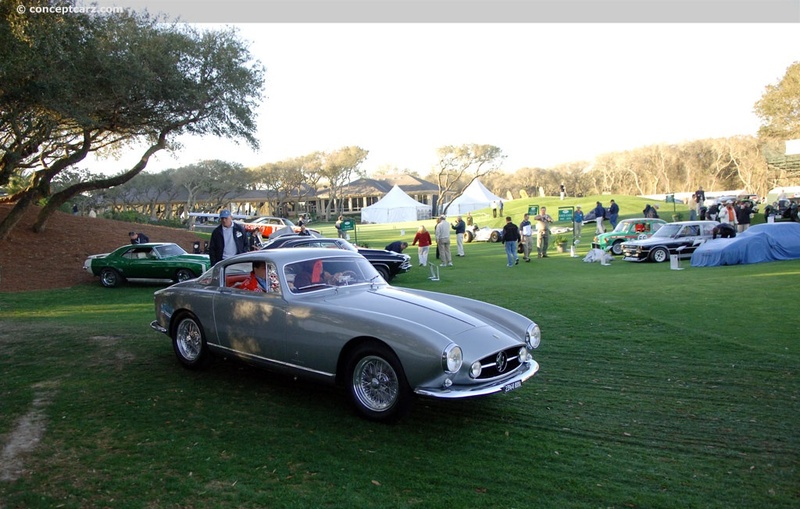 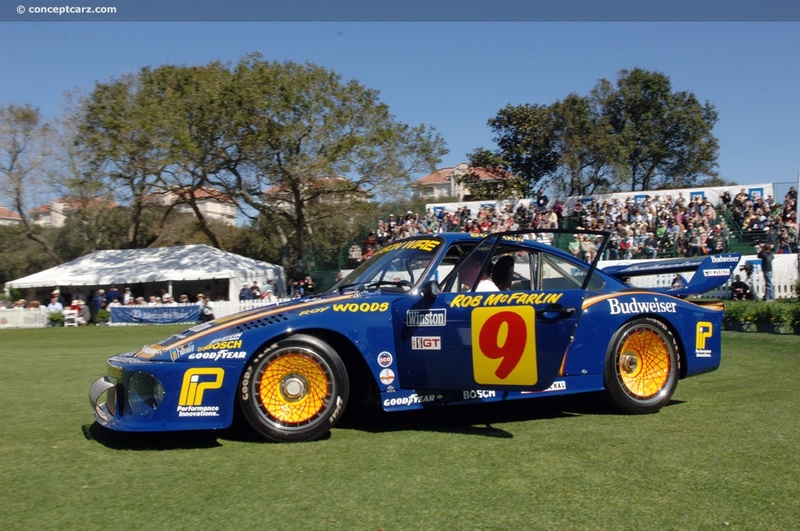 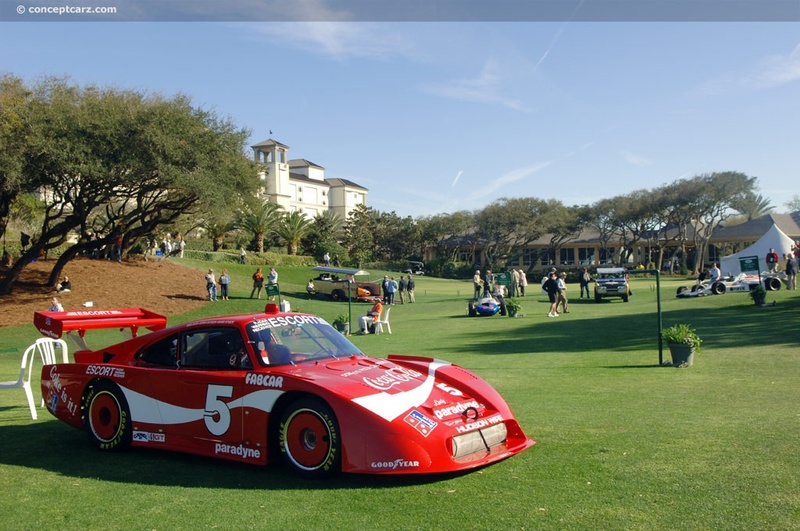 Again, if racing improves the breed, then the Amelia Island Concours is the finest. 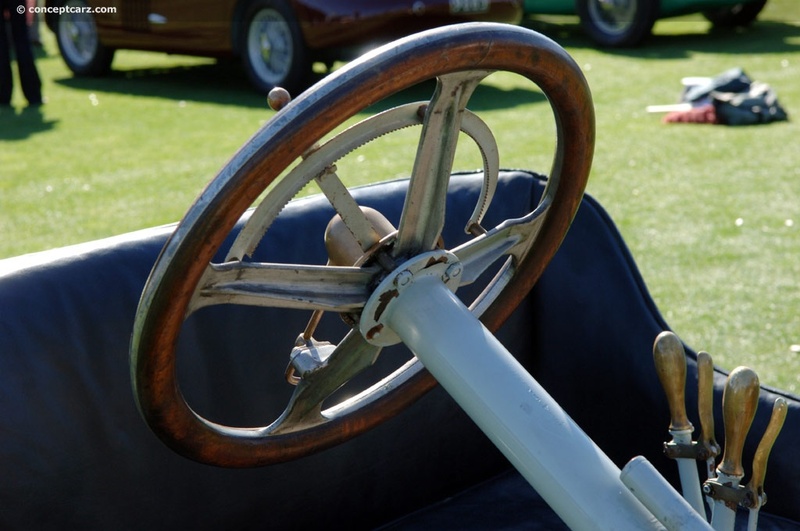 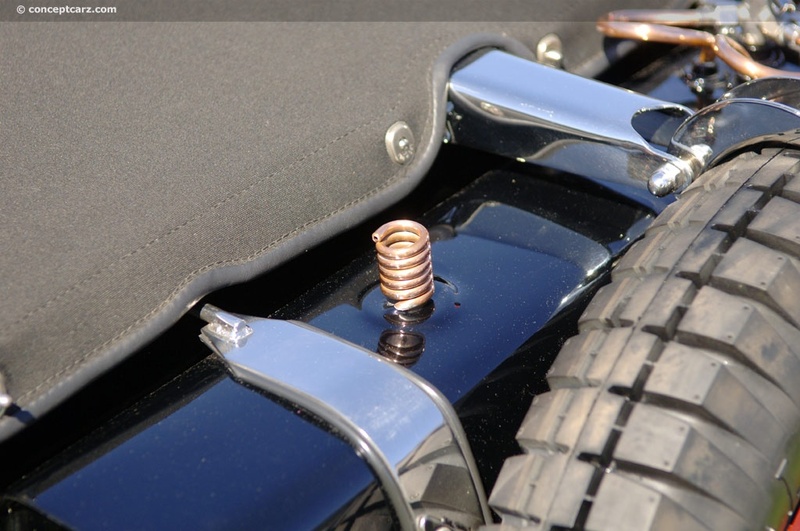 It is a marriage of elegance and racing; of form and function. 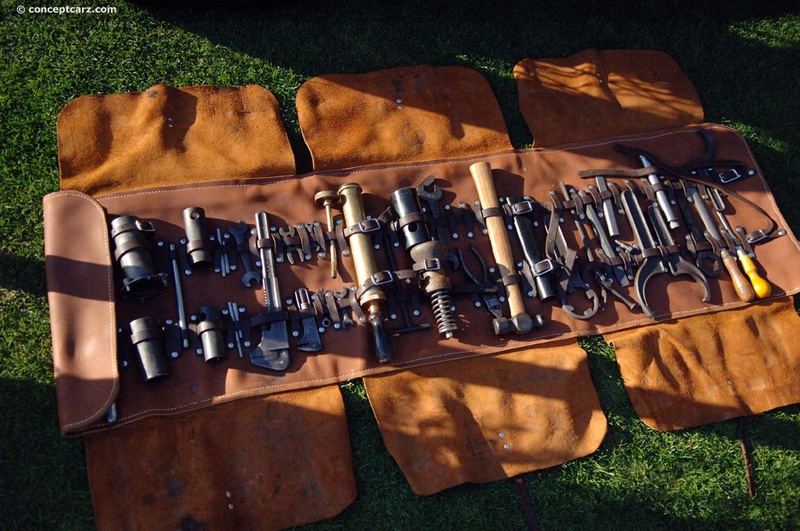 Every category had unique treasures with well-thought examples representing the idea of the group. 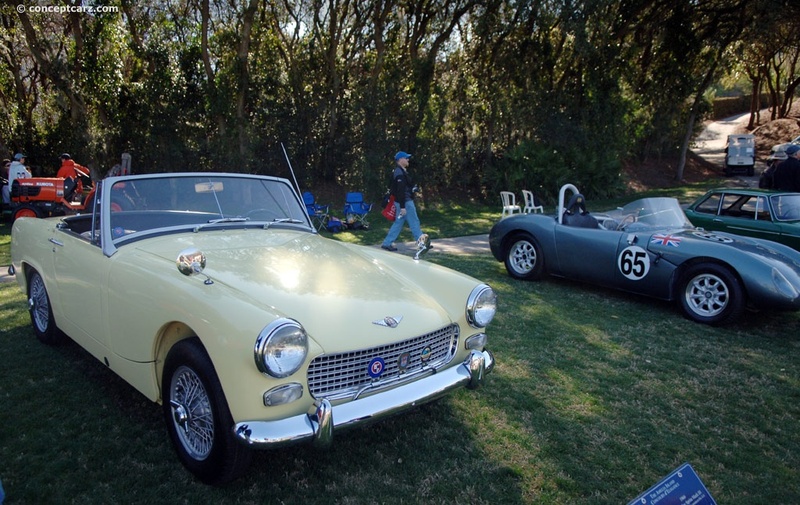 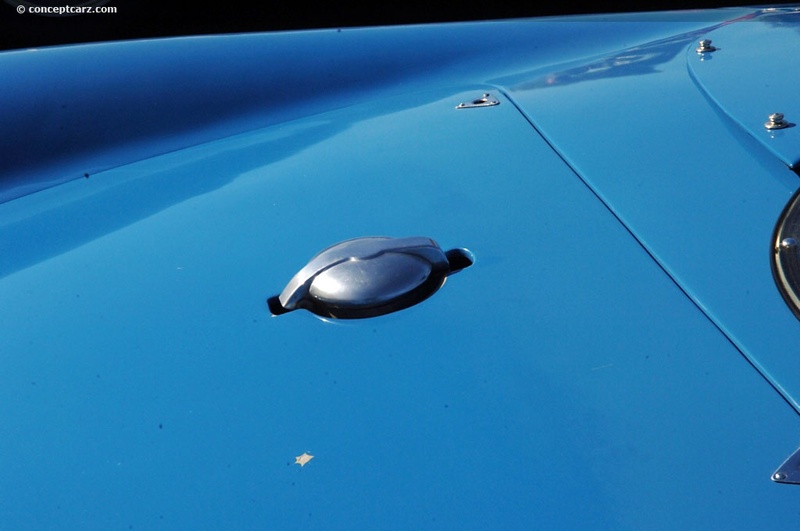 One example in particular, the Innocenti in the Austin Healey Sprite category, was of particular genius. 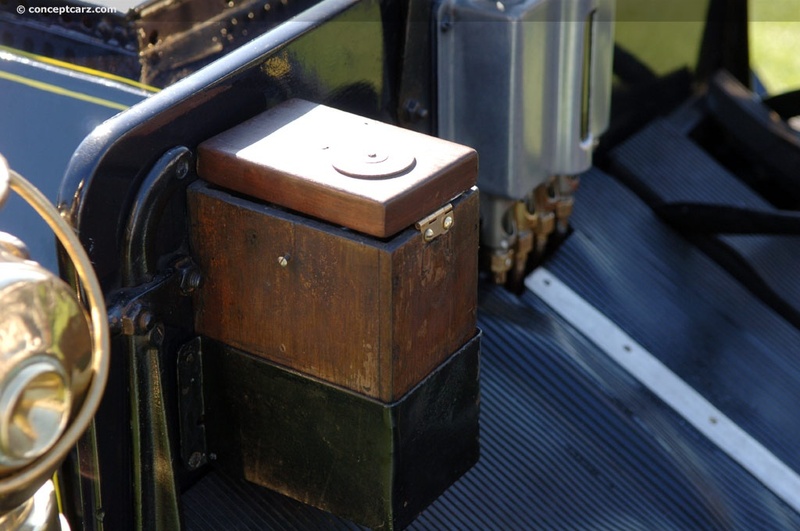 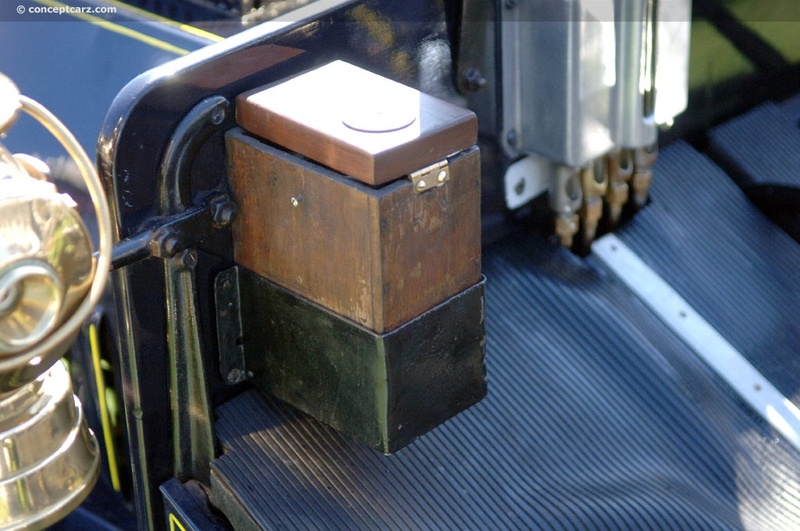 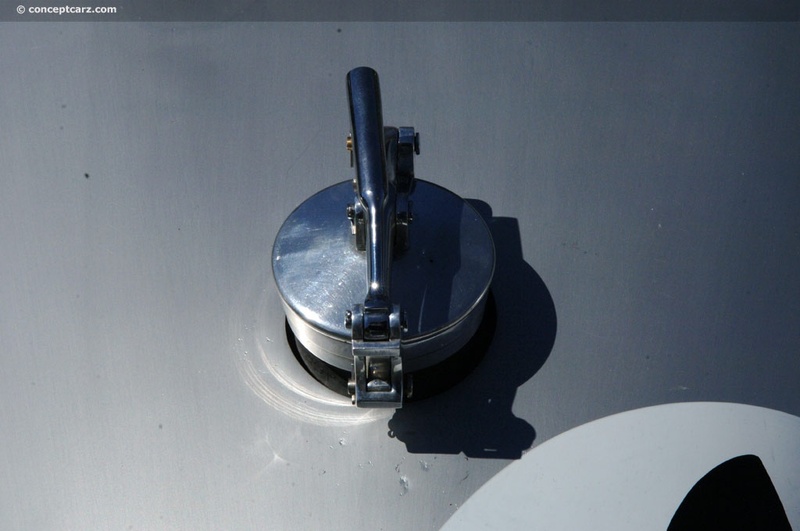 Though at first it would appear not to belong, (as it is obviously not a Sprite), its platform and mechanical components are courtesy of the Sprite. 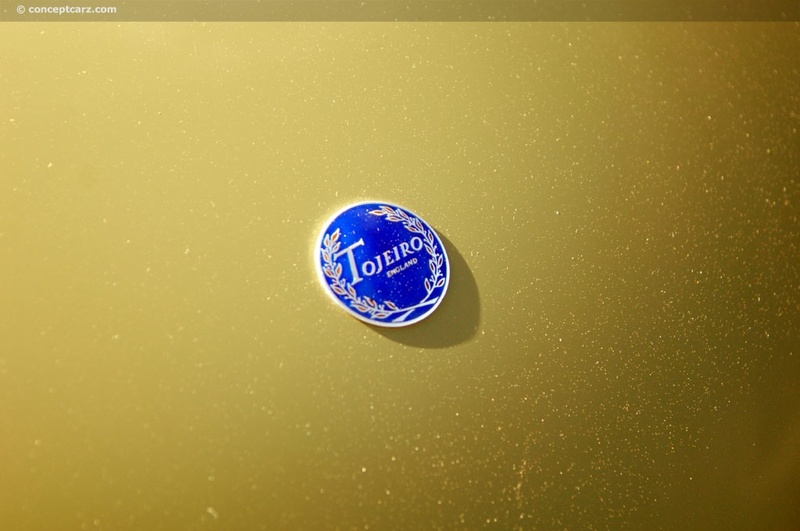 Thus, it was an excellent addition to the exclusive group. 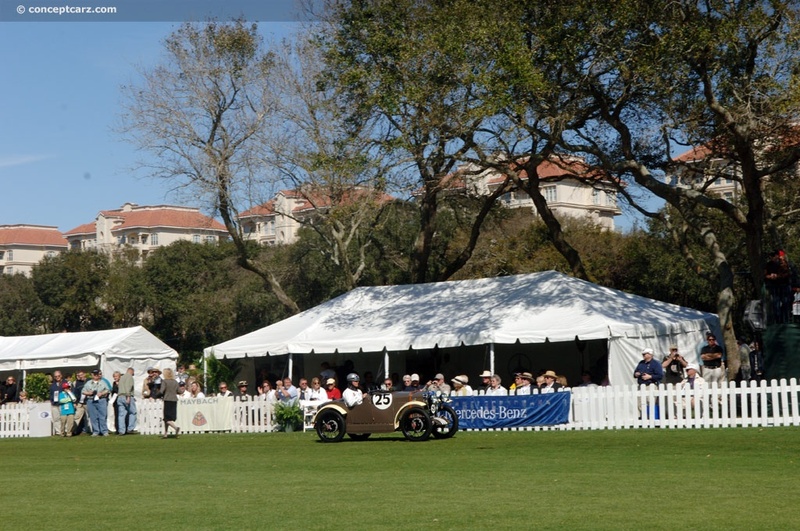 The weather turned out to be nice, even though the days leading up to the event were unseasonably windy and rainy. 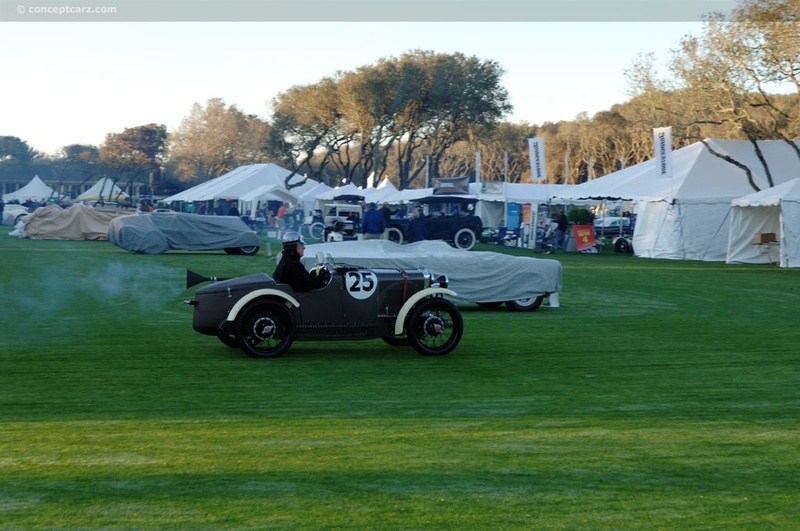 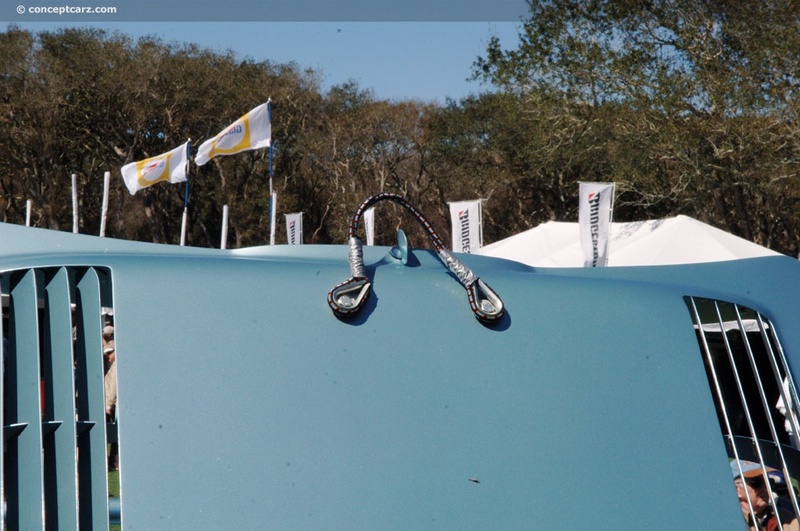 Concours day began with temperatures in the 30's, uncommon for sun-baked Florida, but reached comfortable conditions by early afternoon. 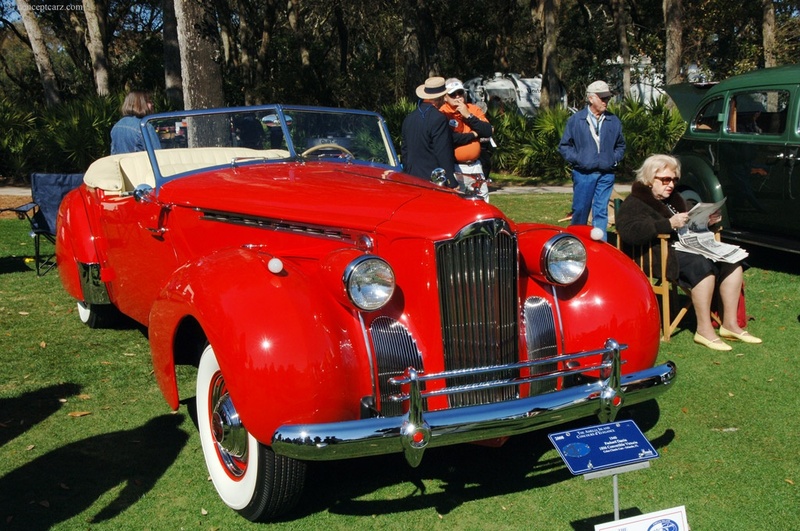 The 'Best of Show' vehicles were easy candidates for the prestigious awards, and the Best of Class winners were also very appropriate.